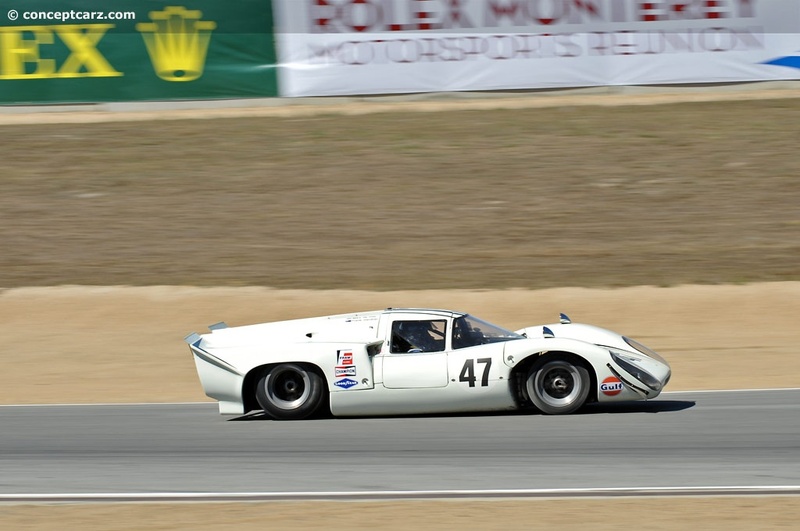 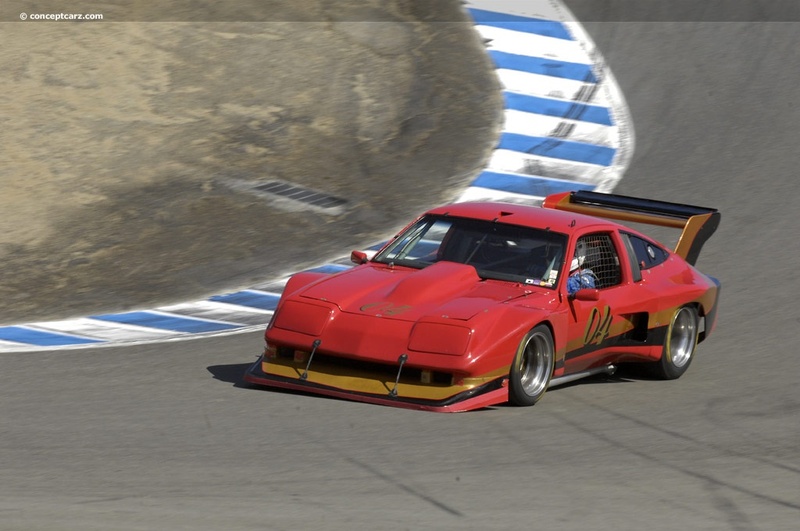 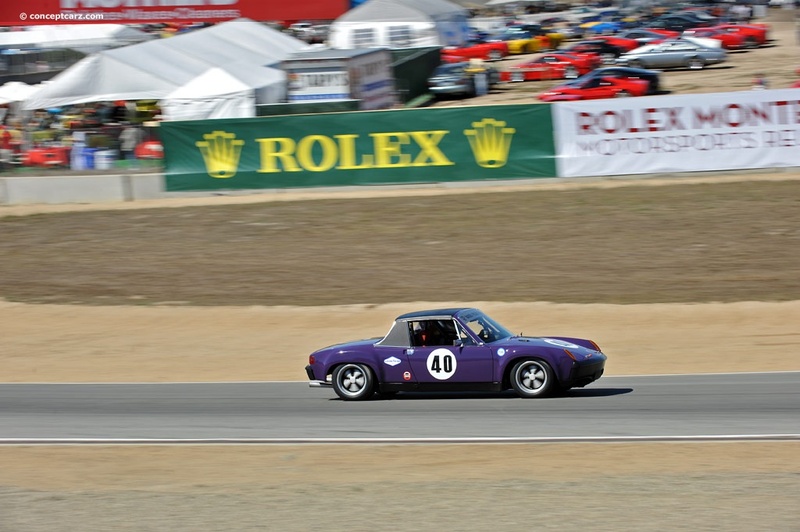 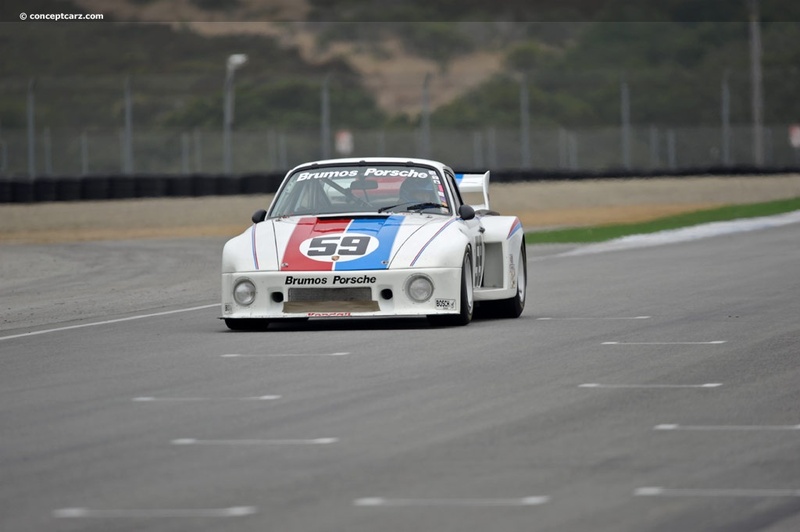 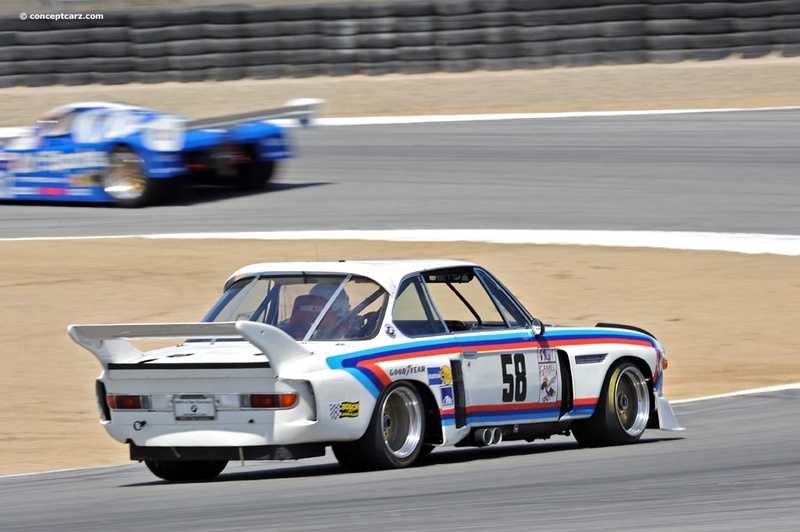 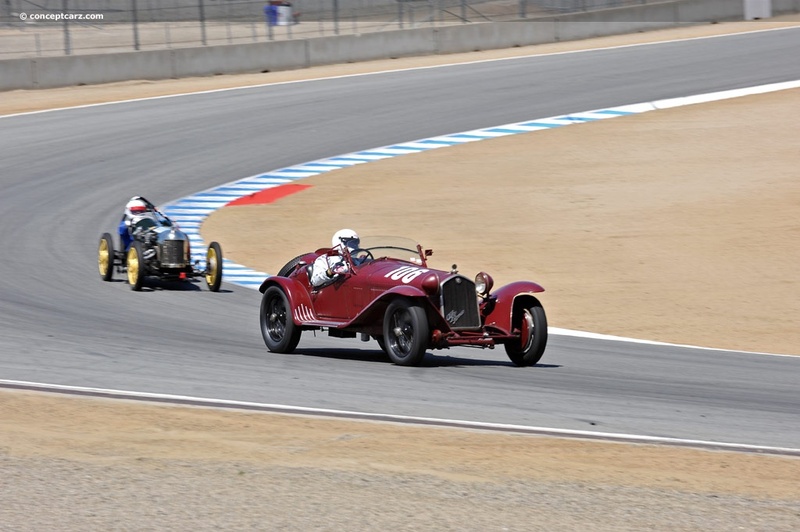 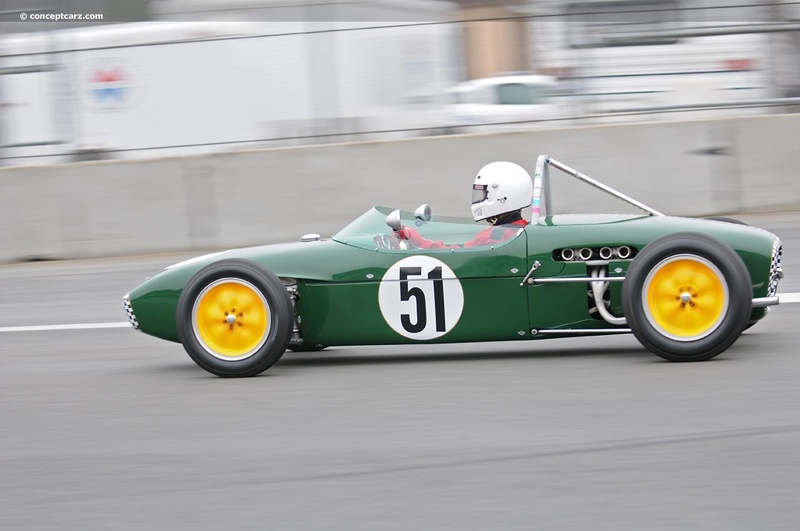 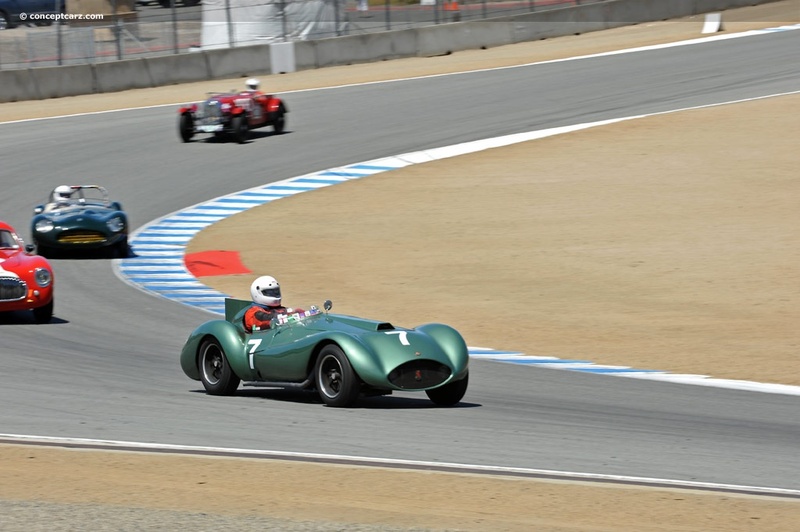 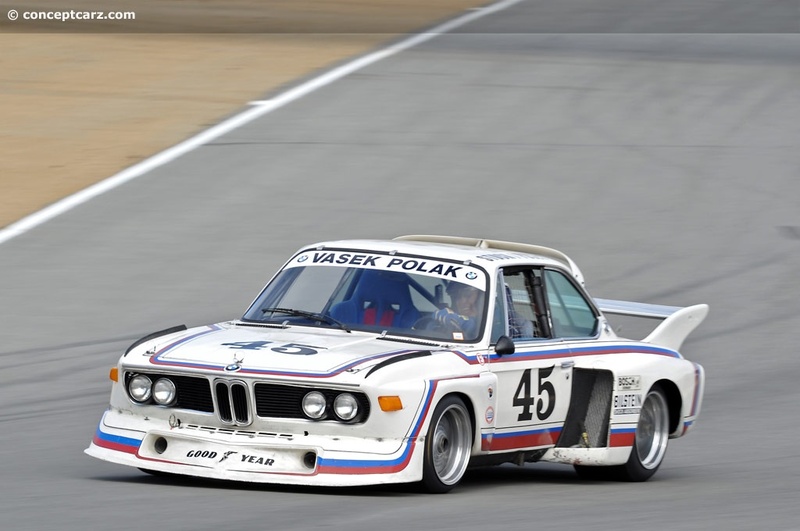 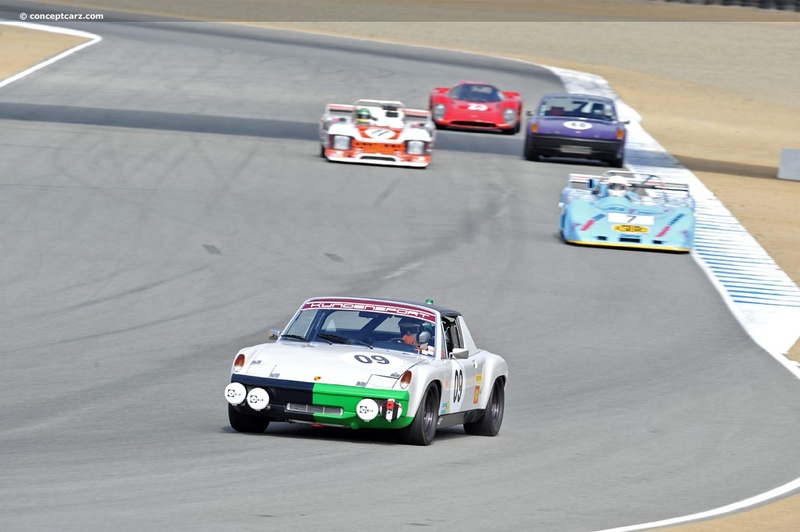 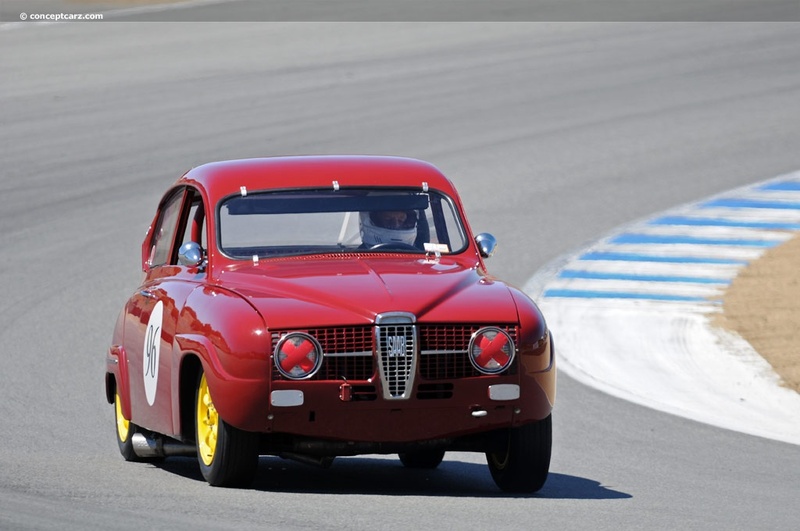 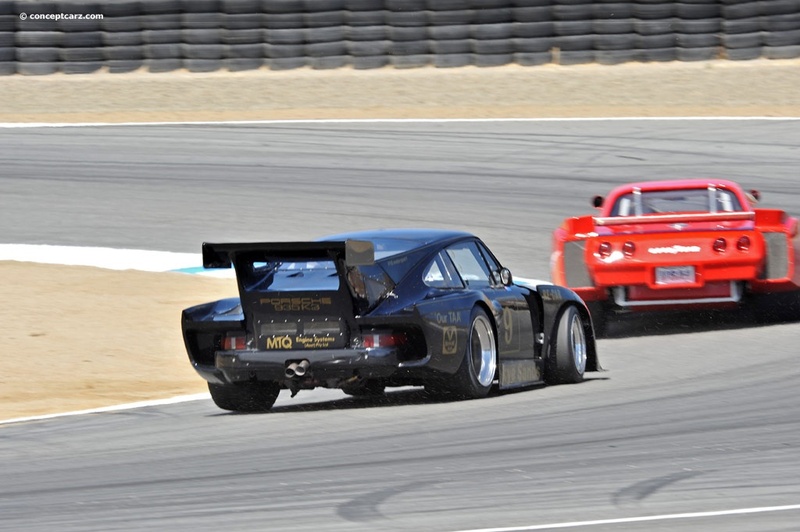 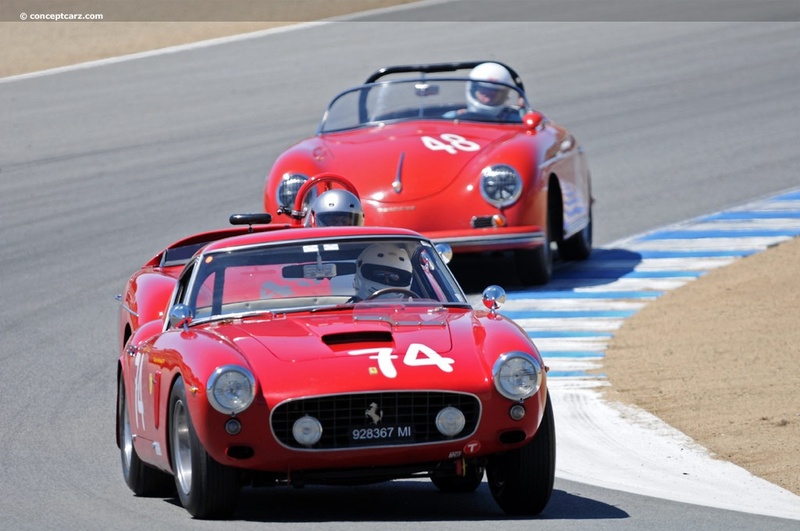 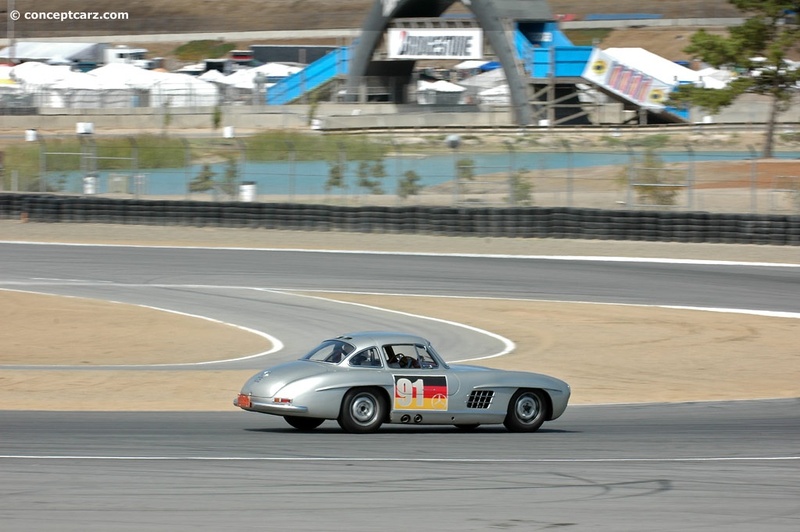 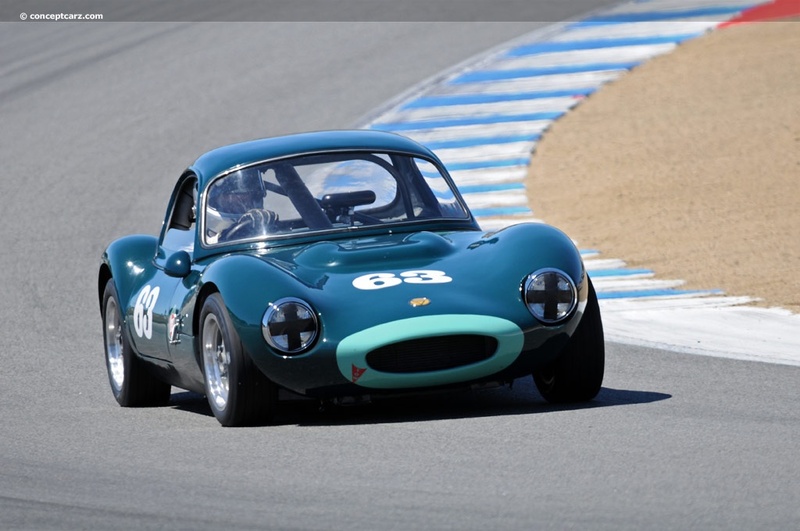 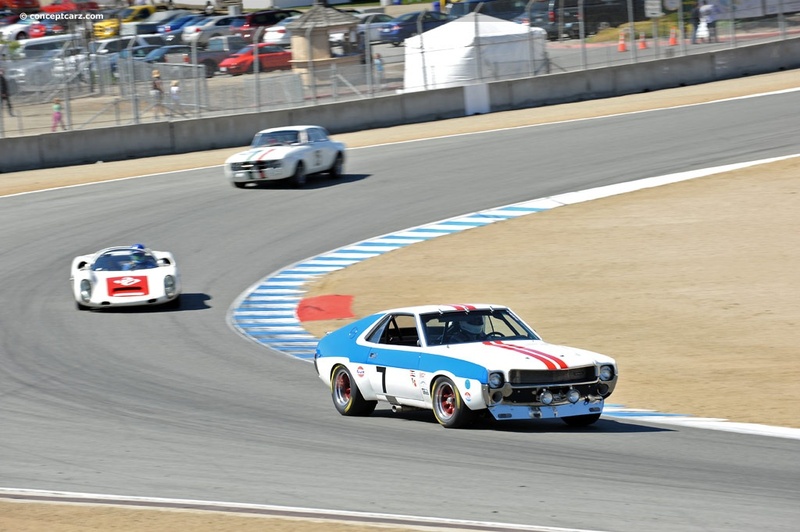 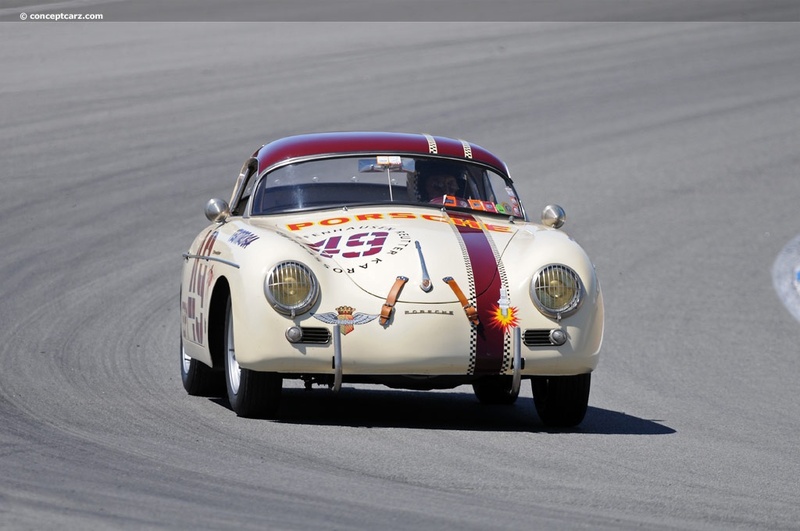 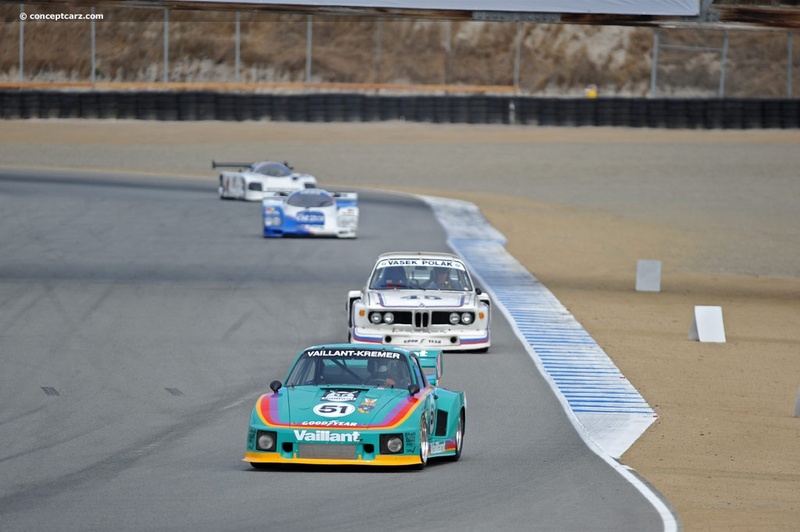 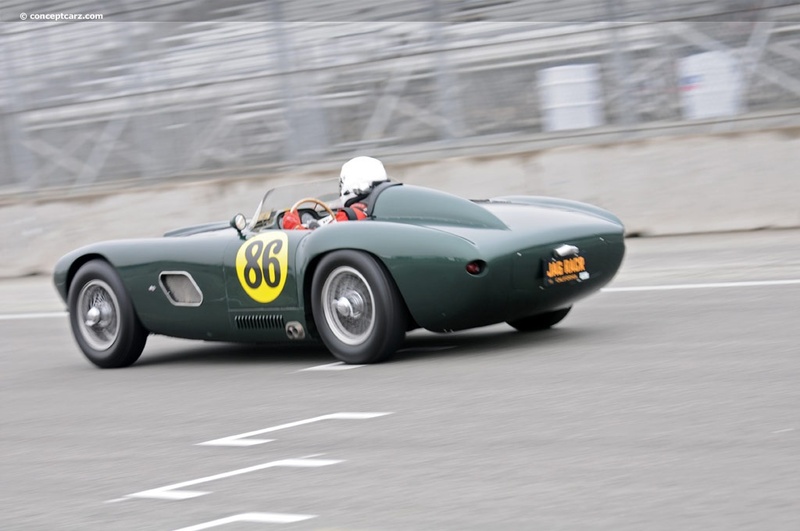 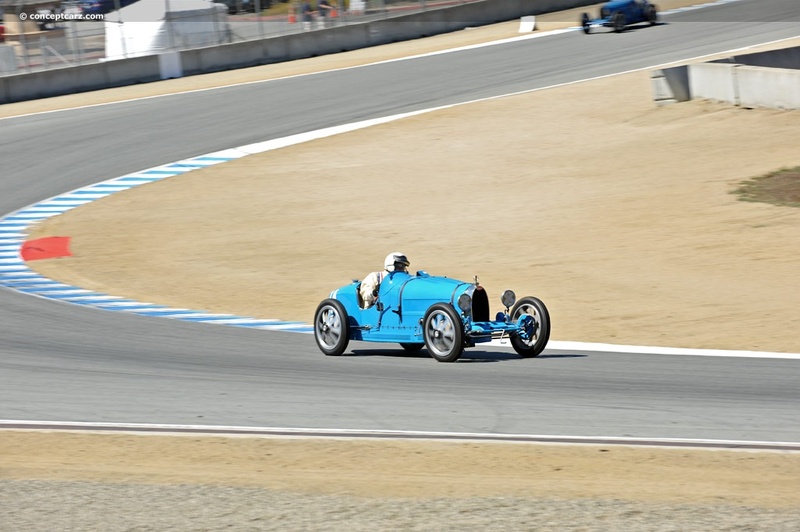 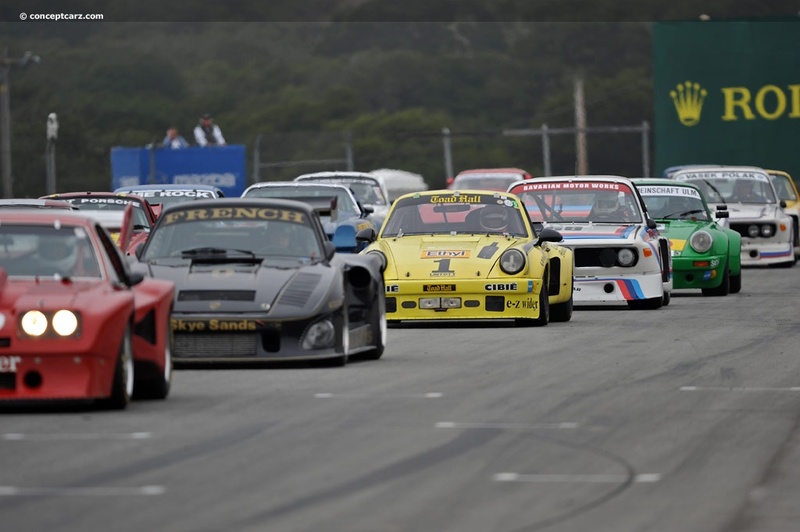 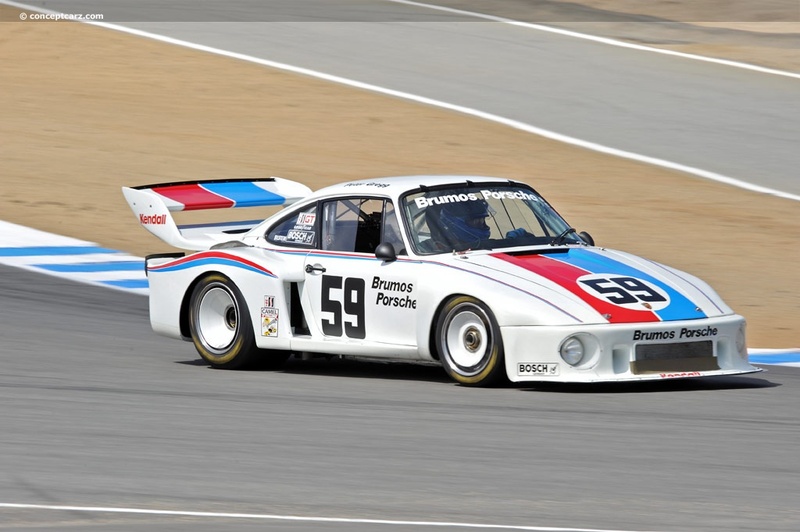 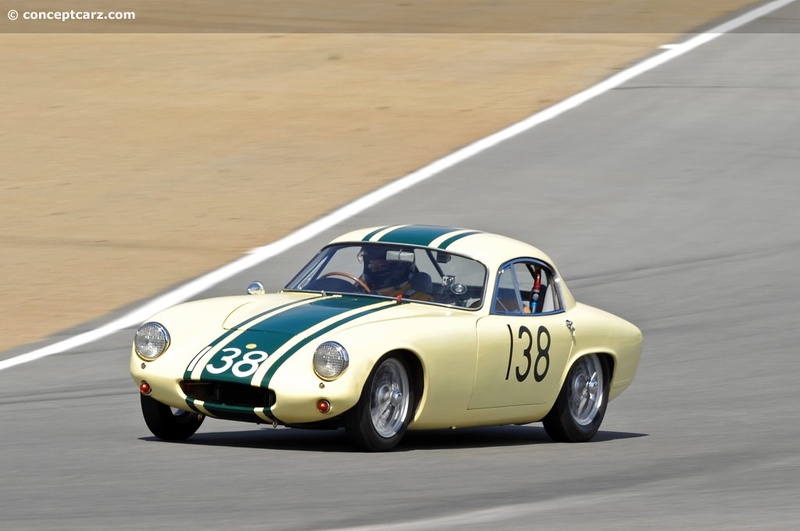 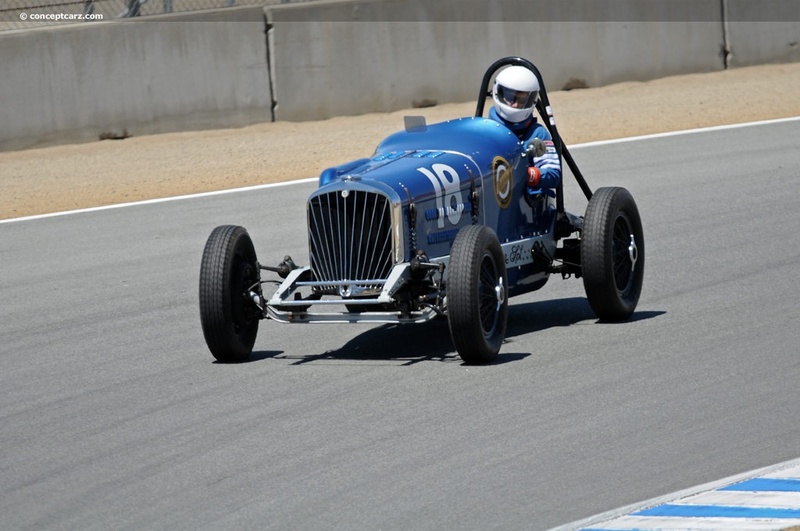 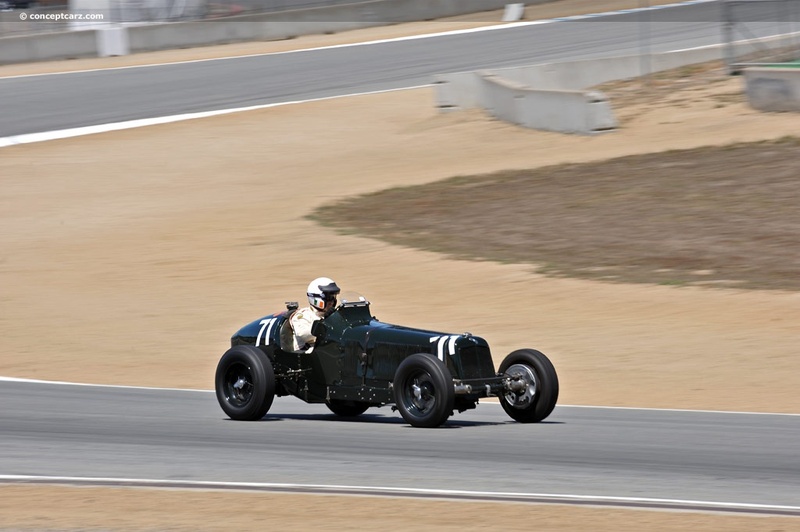 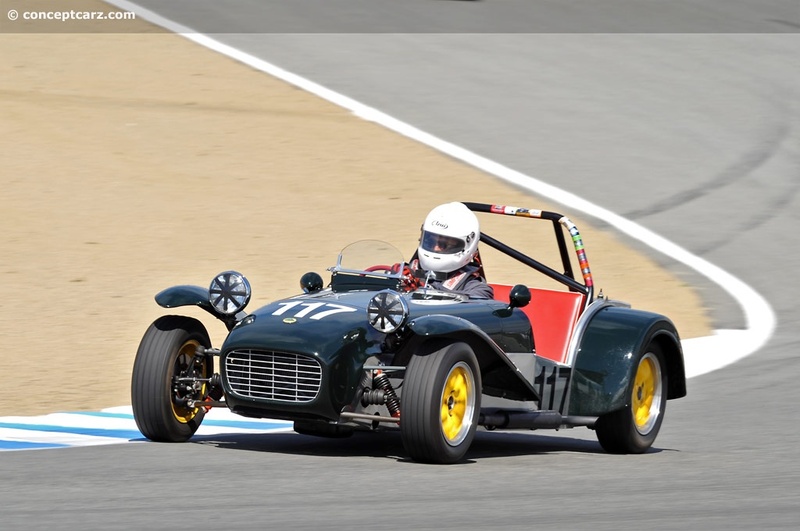 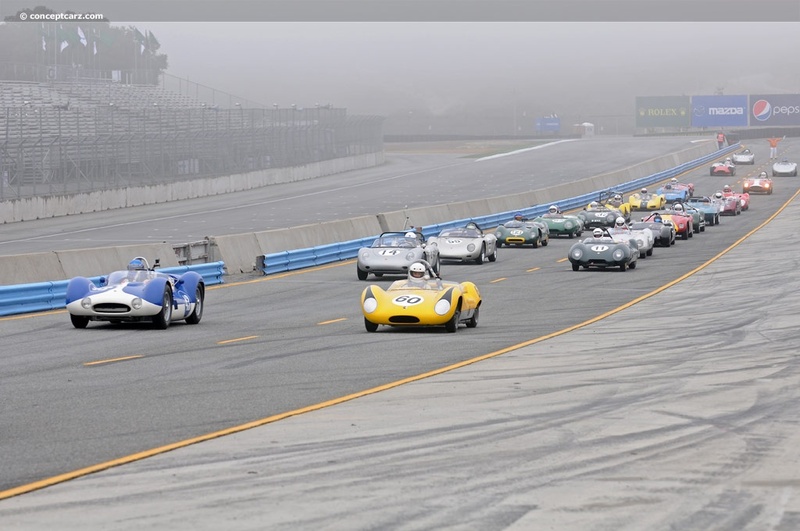 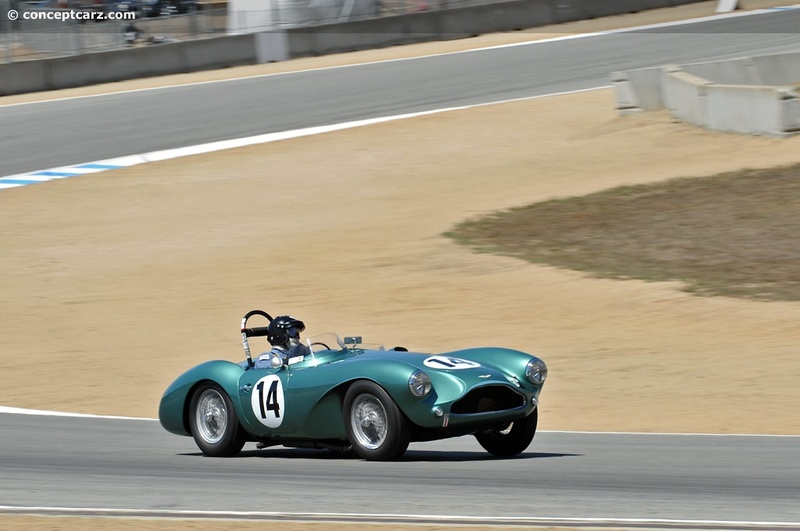 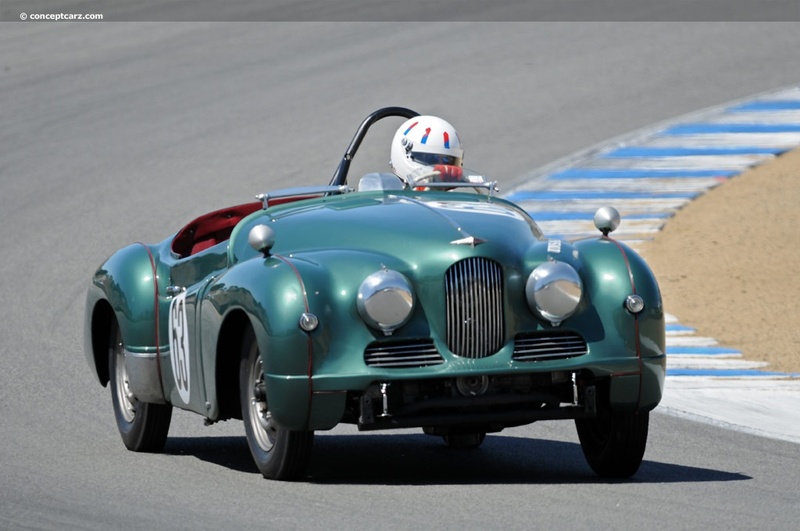 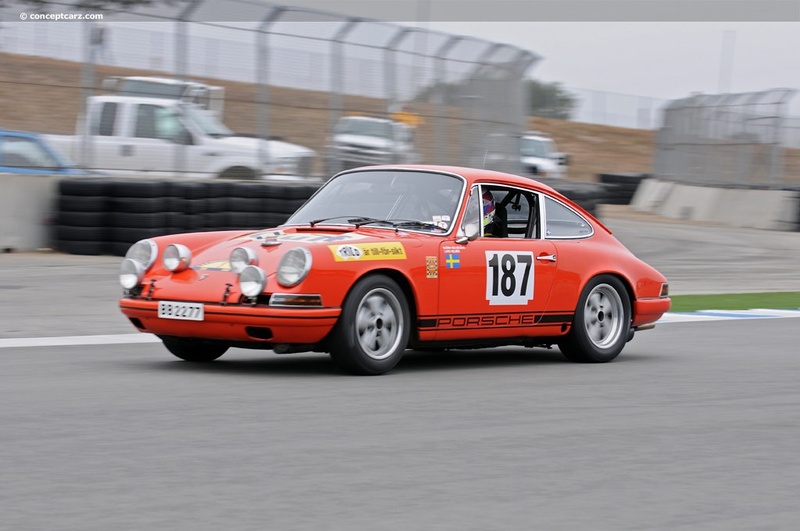 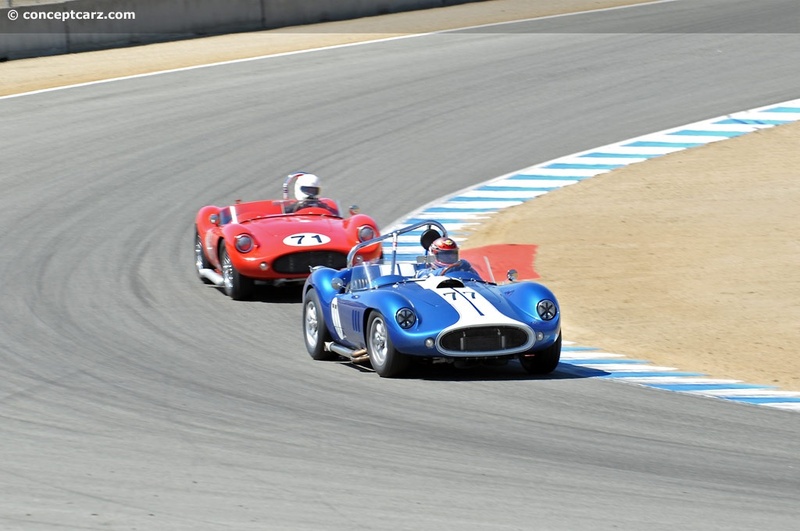 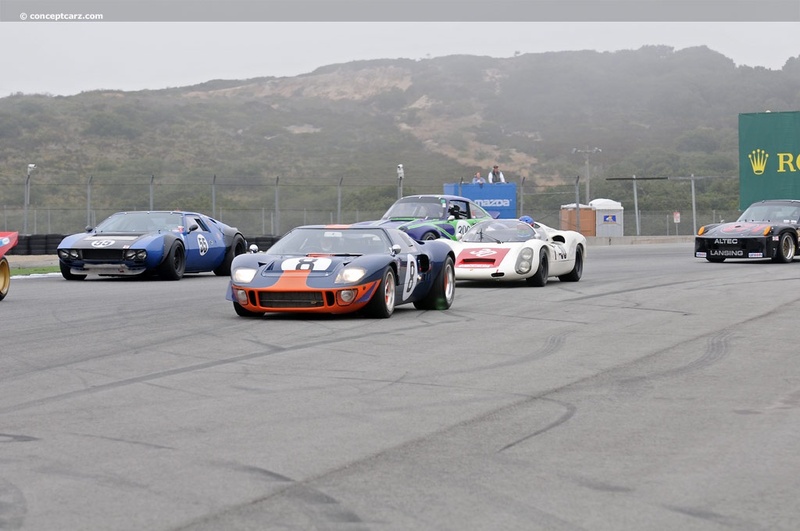 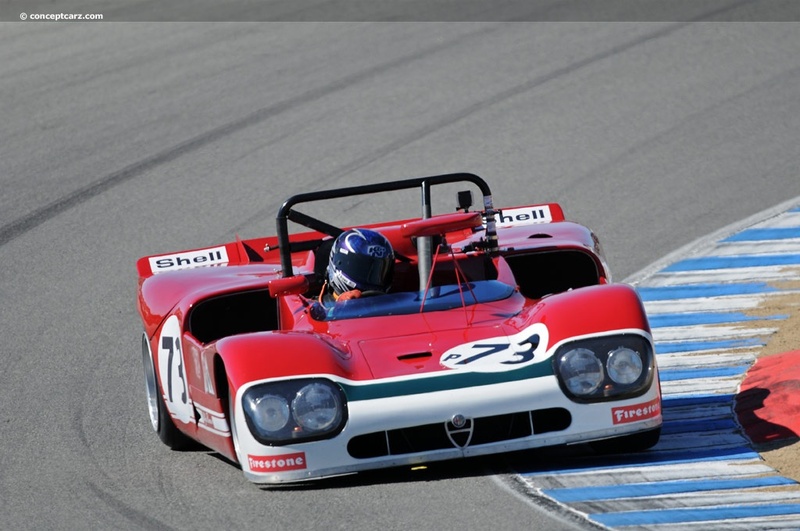 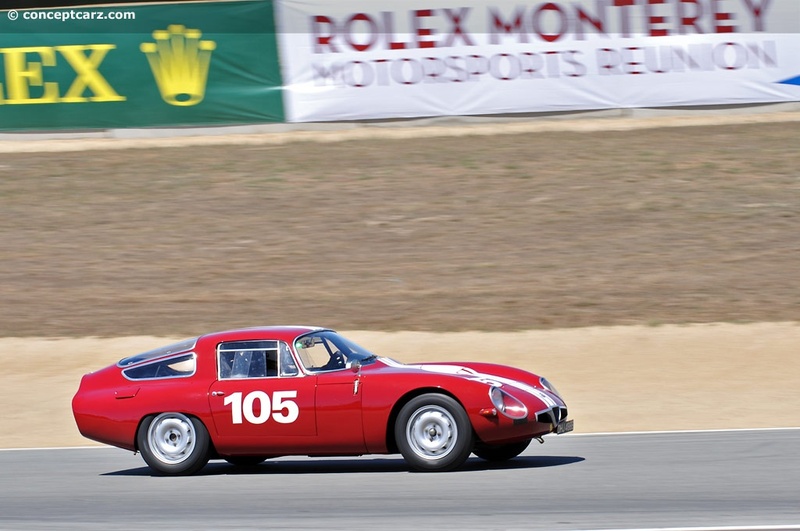 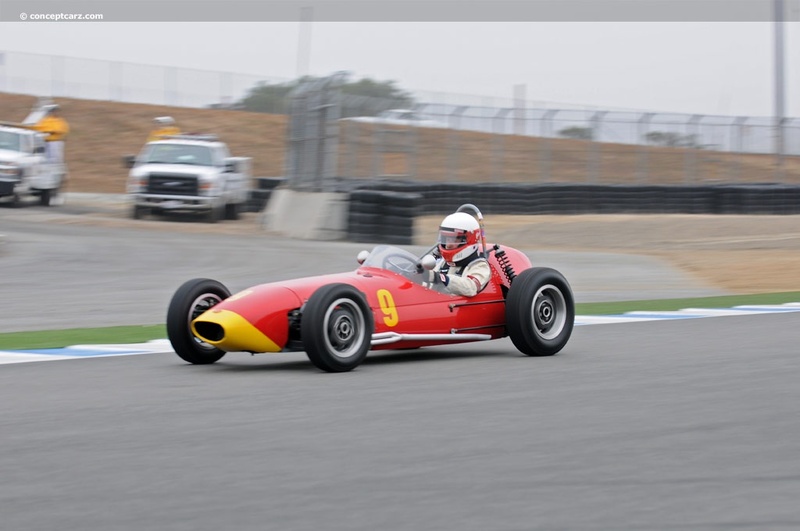 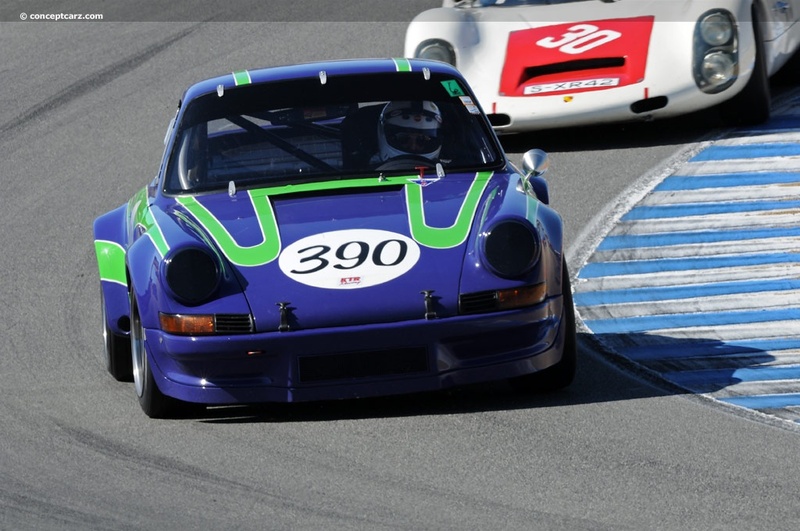 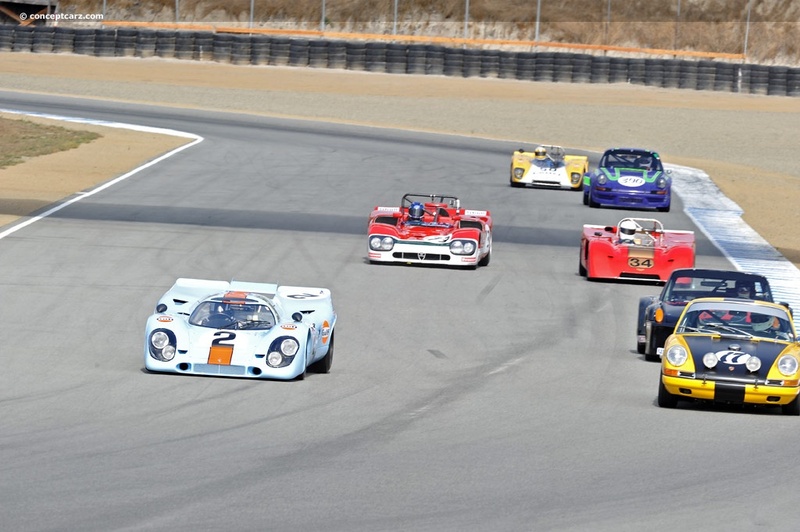 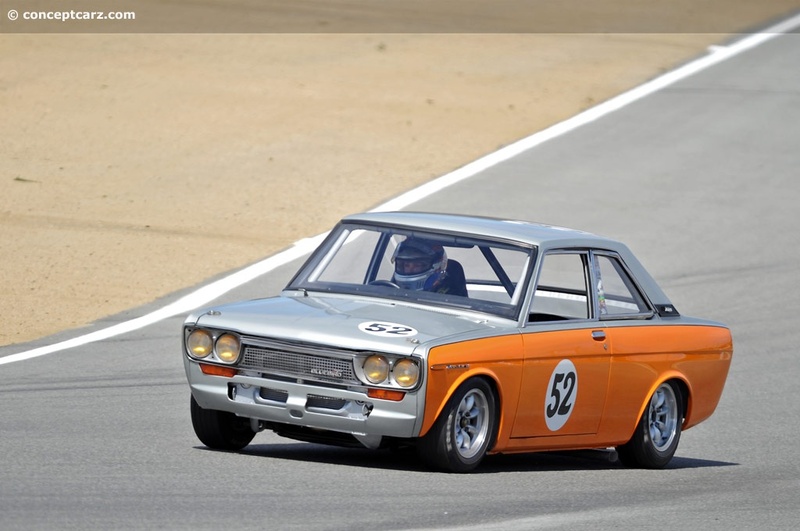 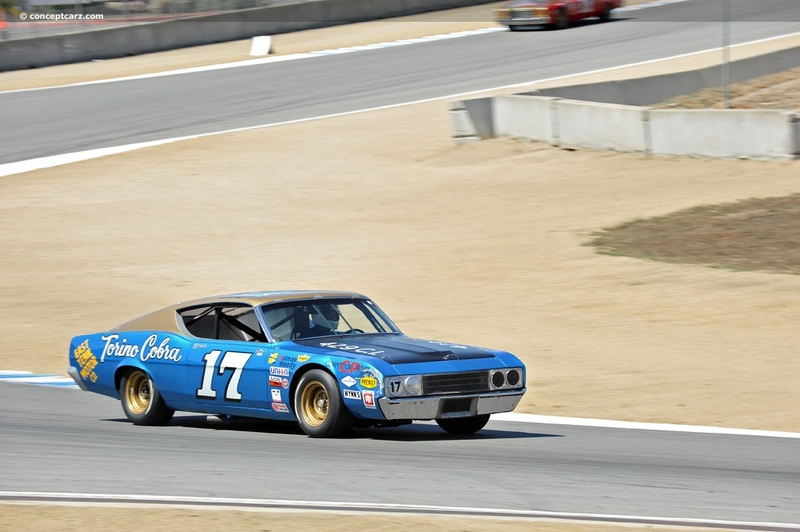 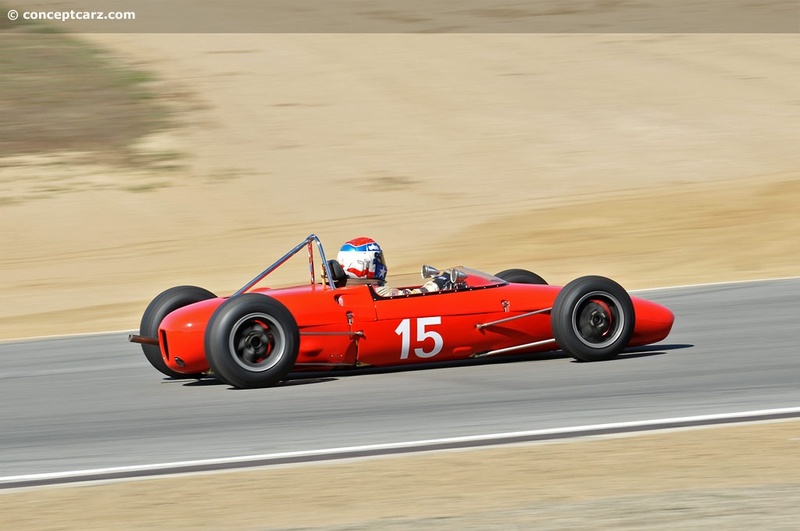 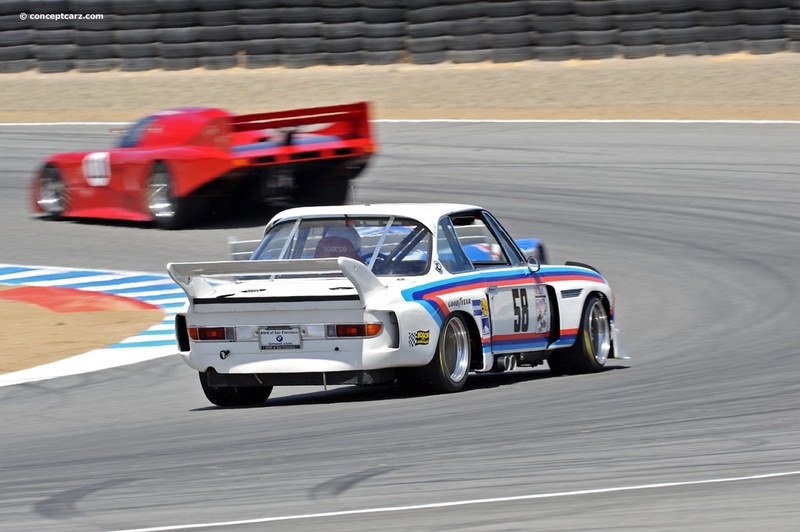 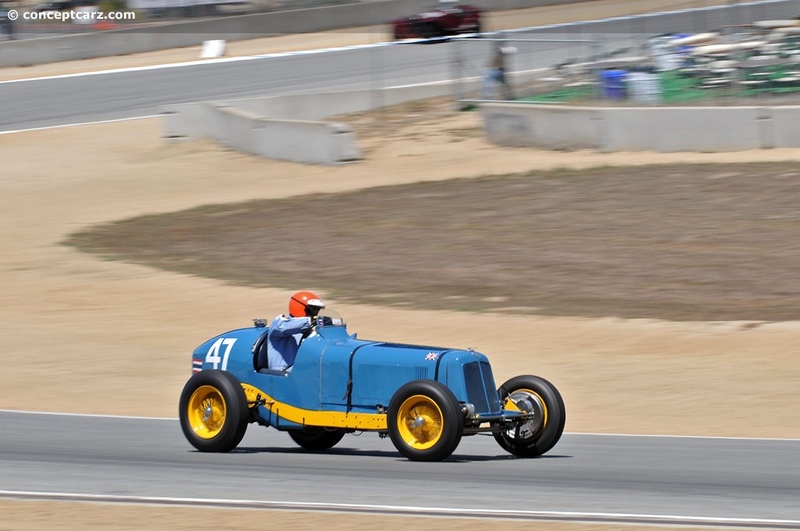 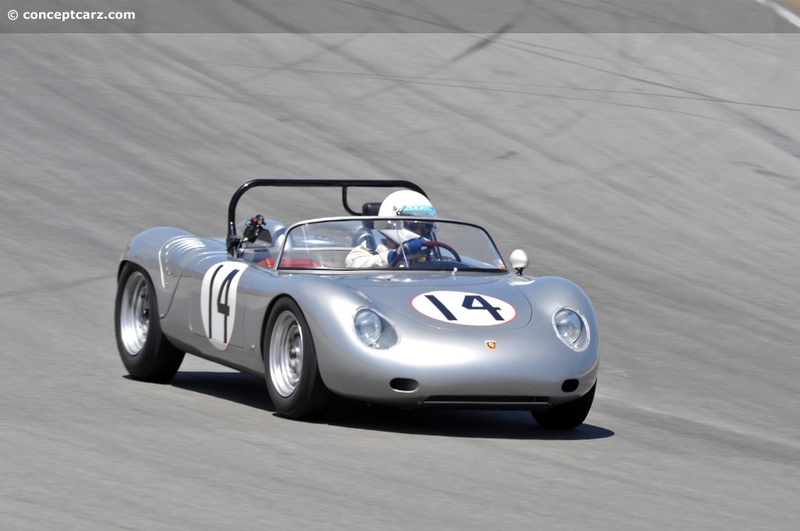 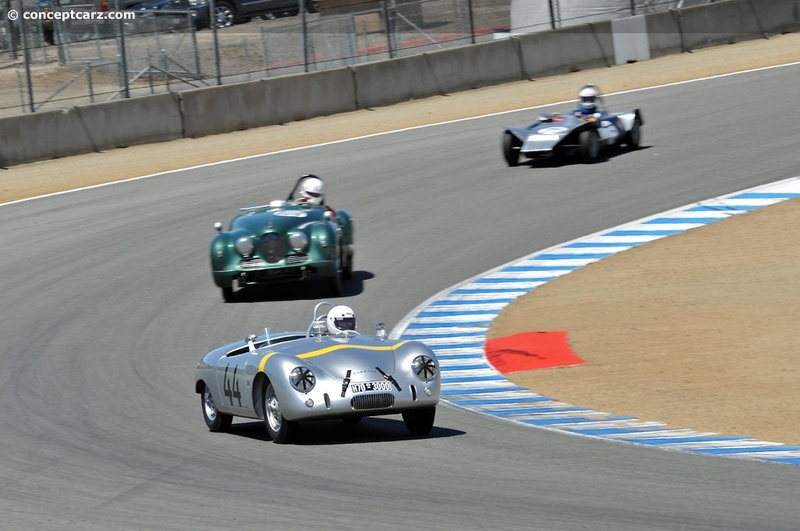 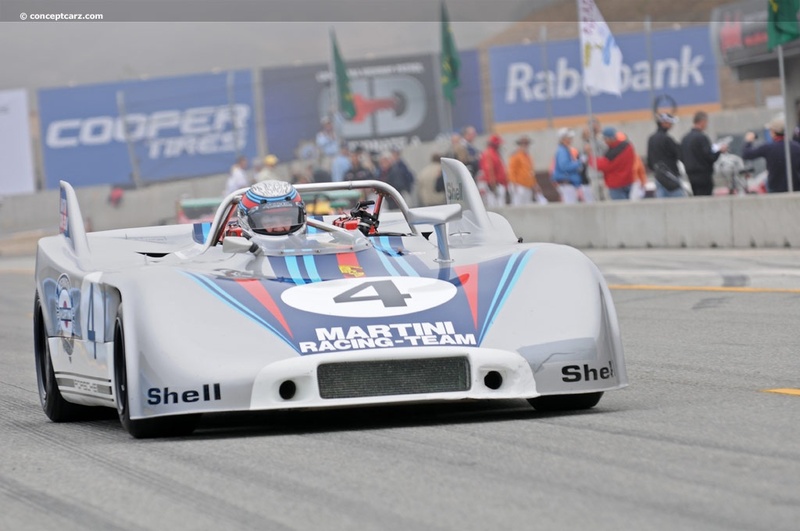 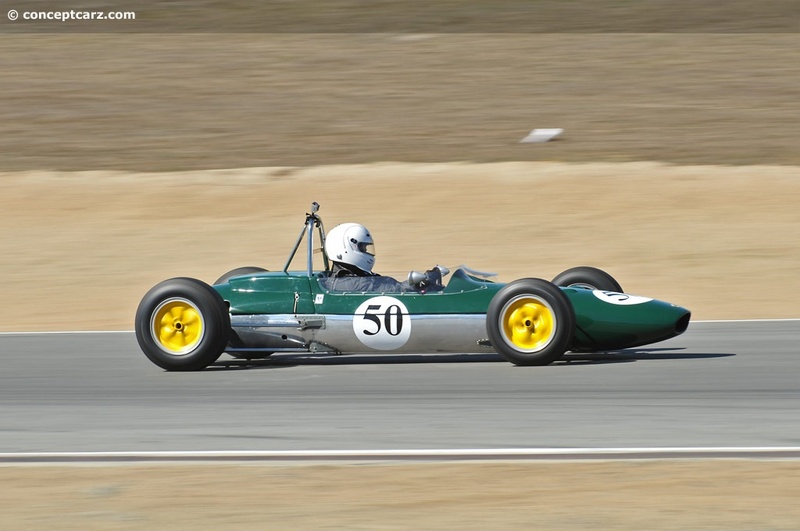 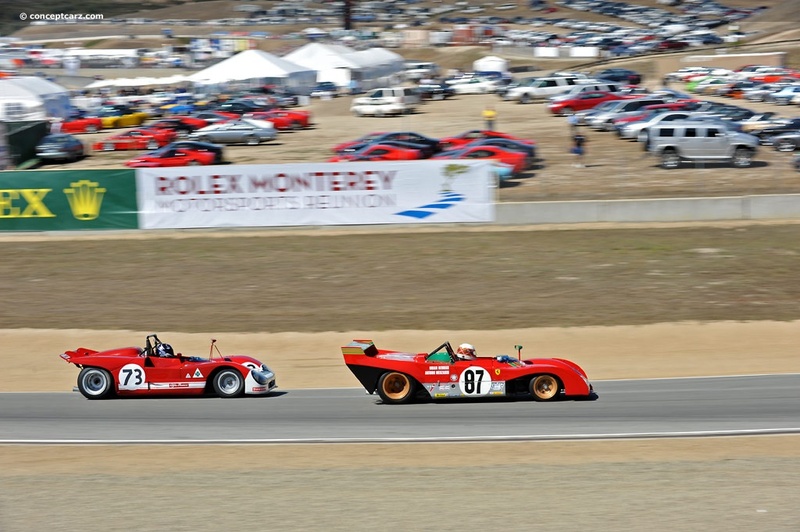 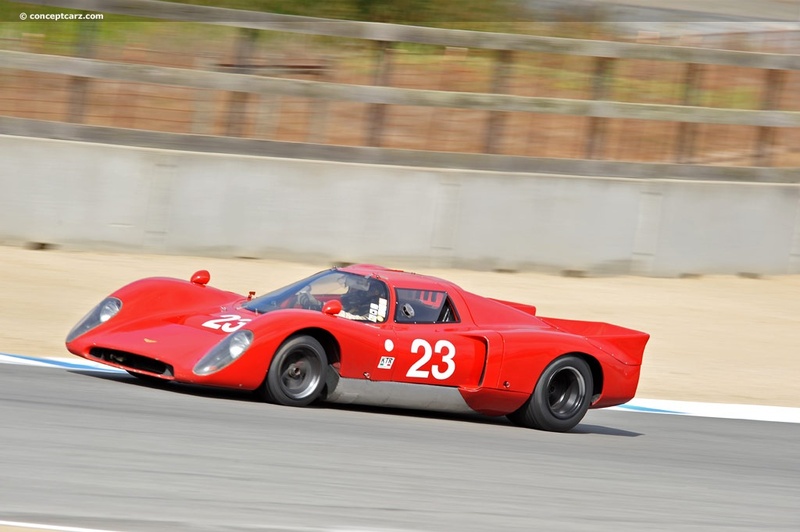 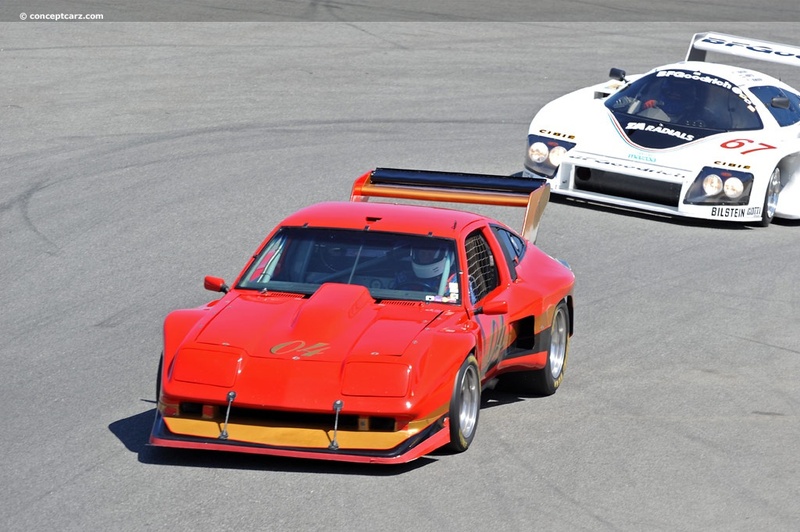 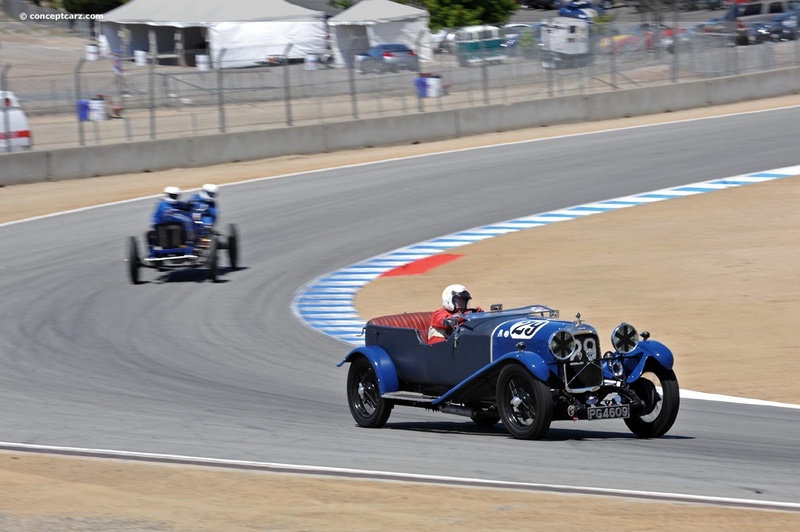 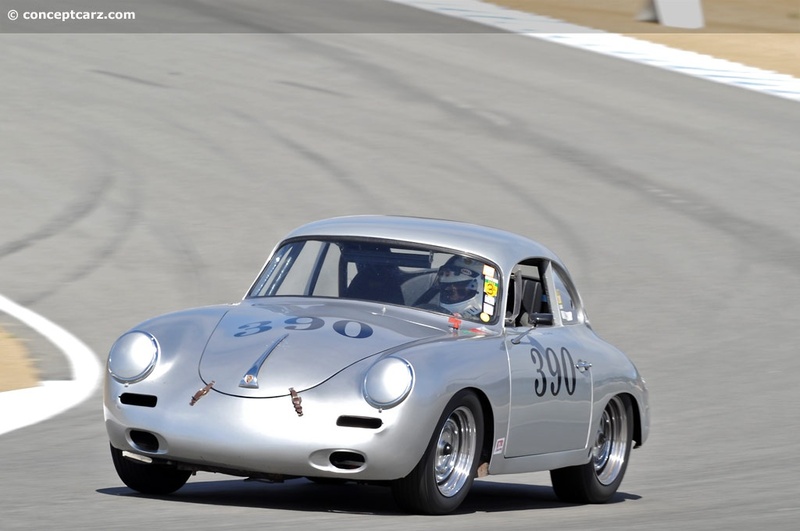 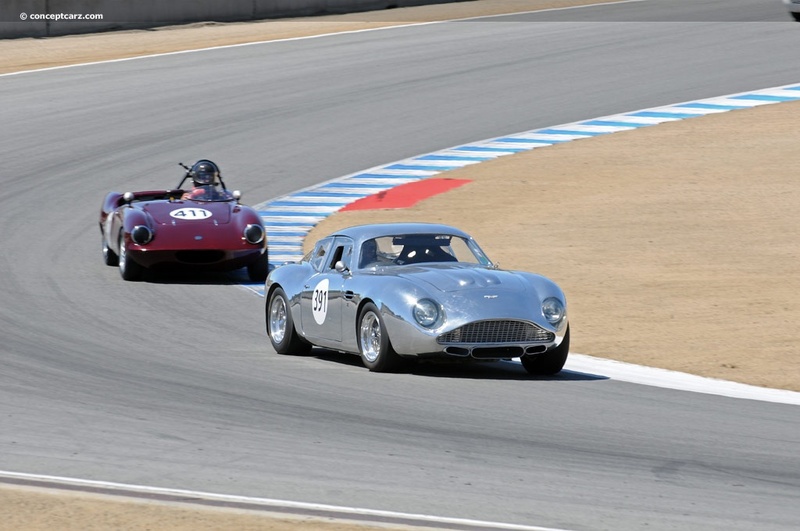 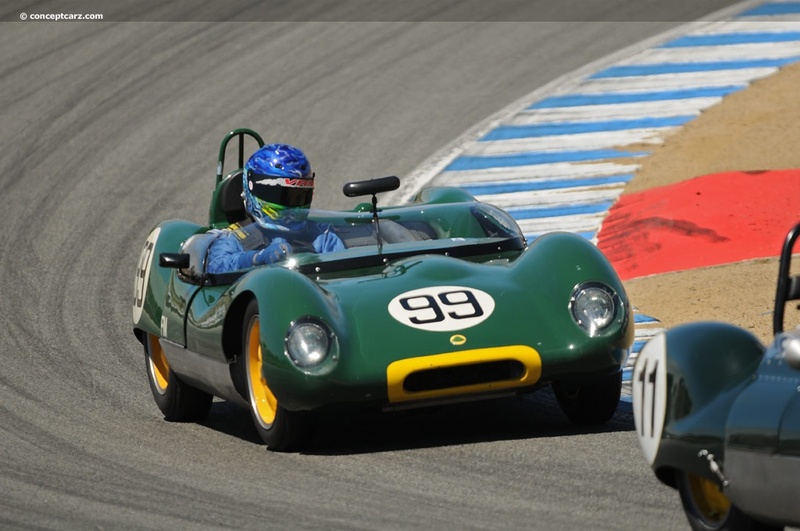 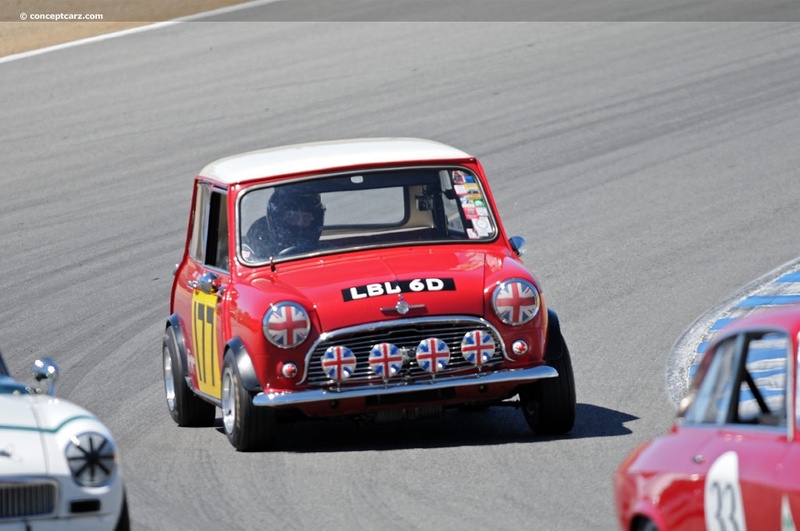 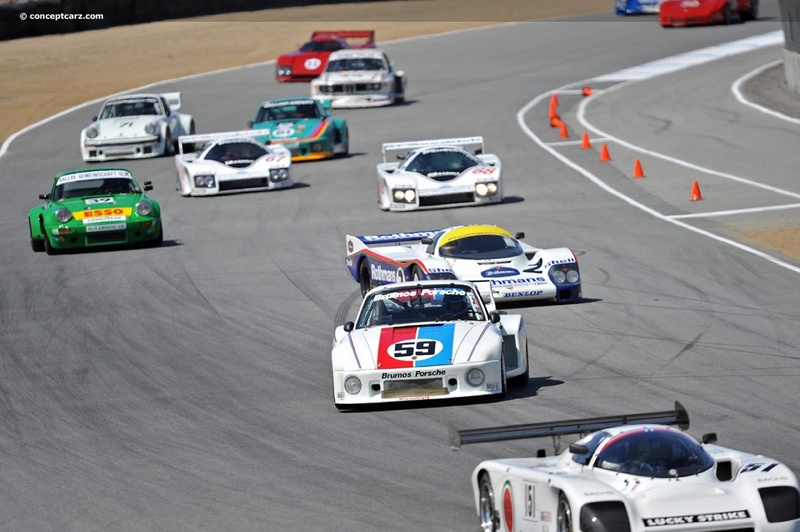 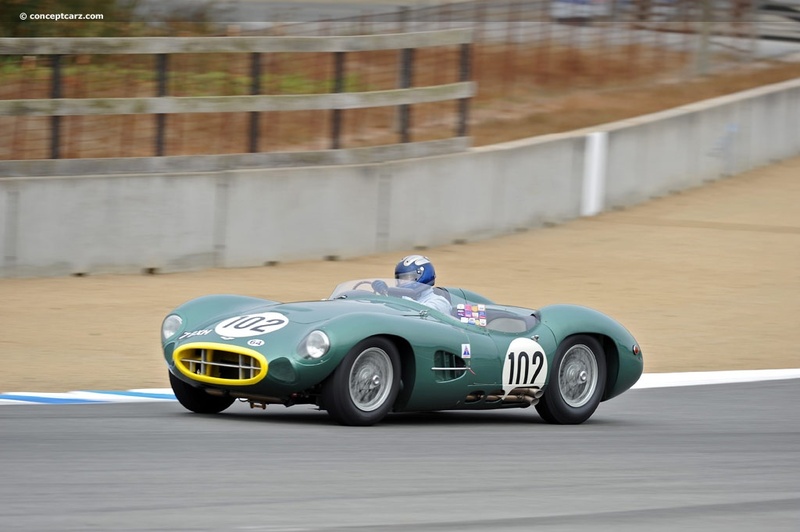 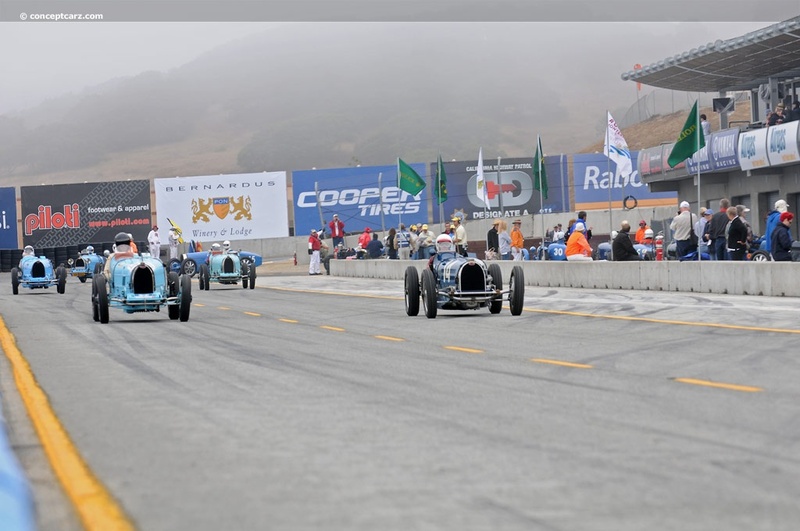 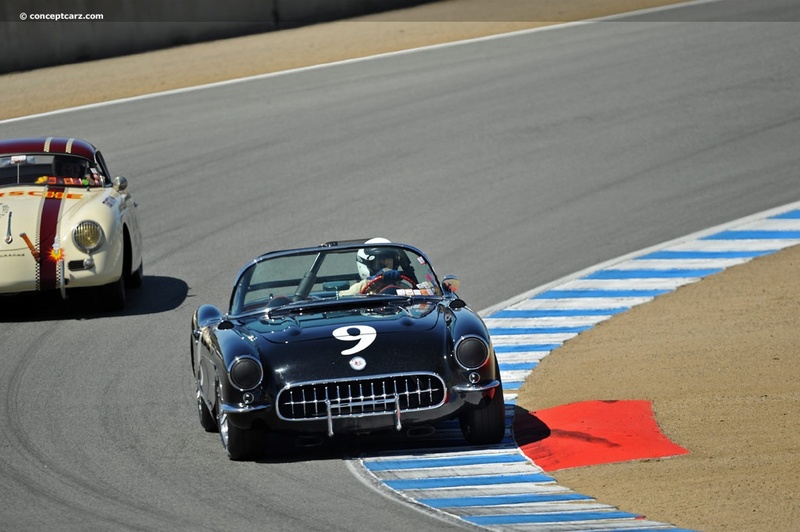 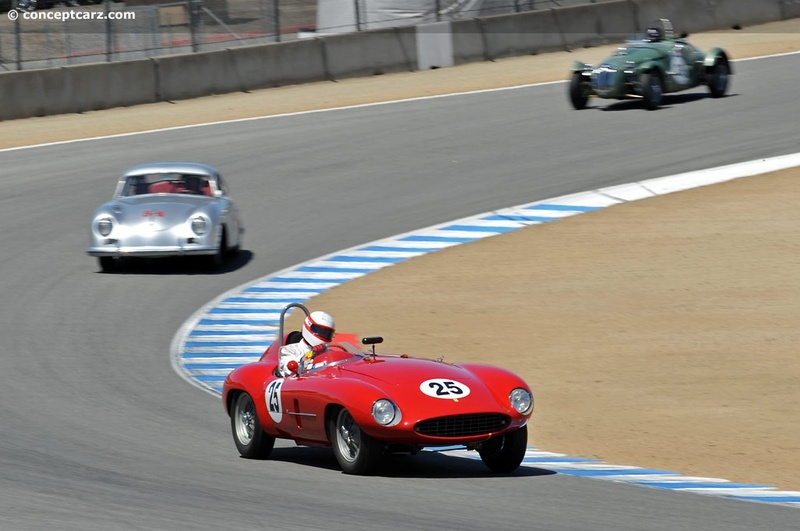 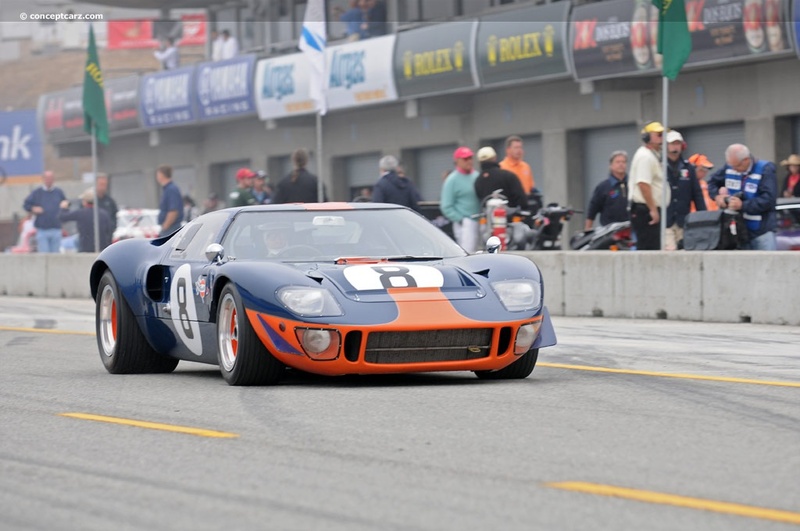 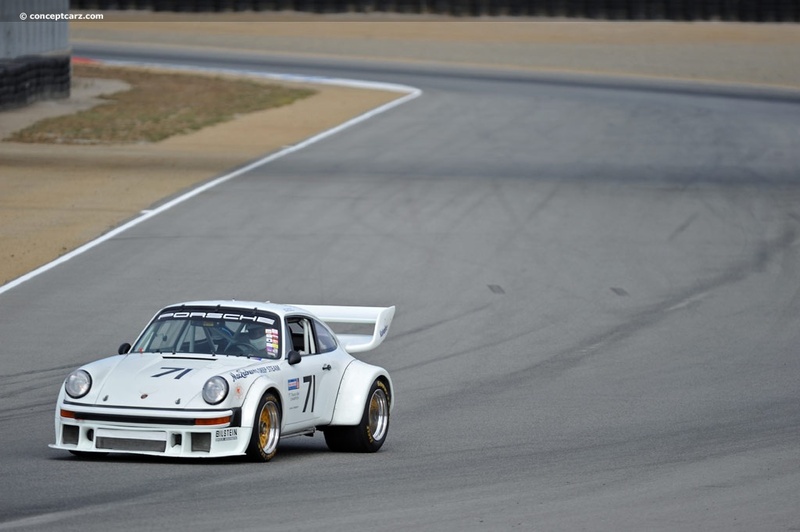 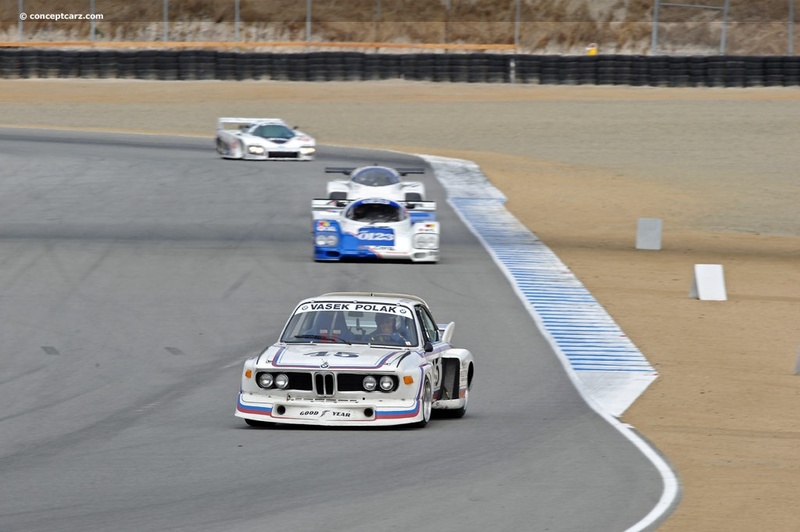 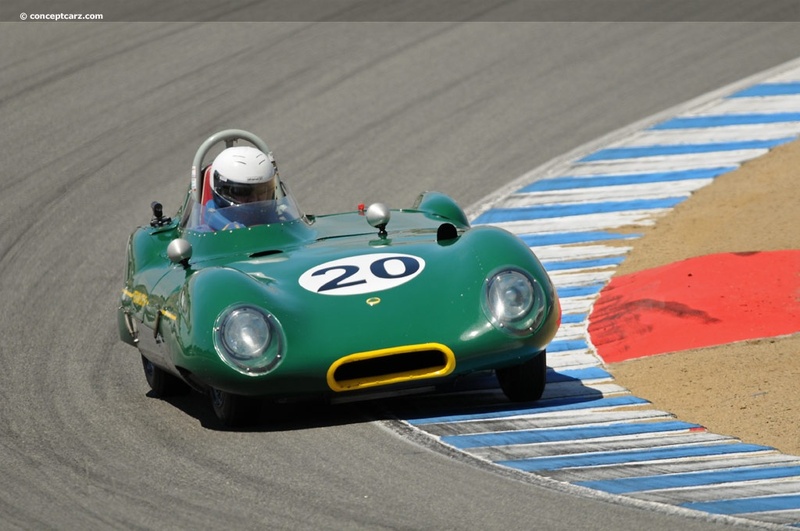 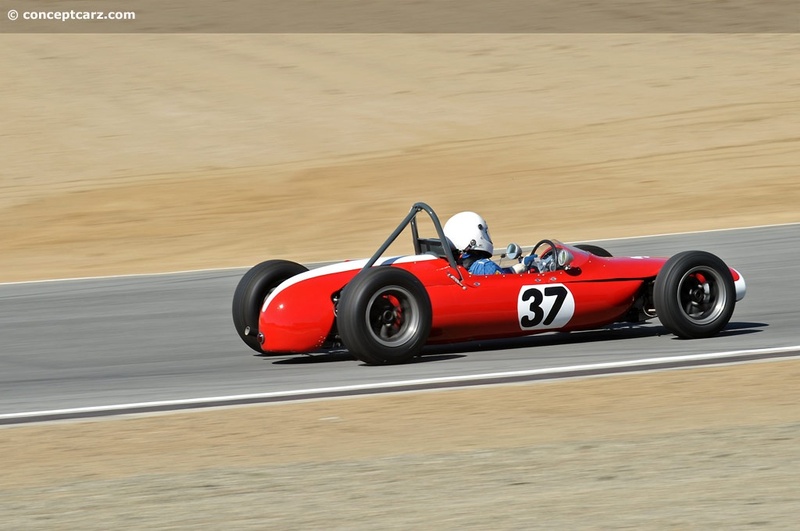 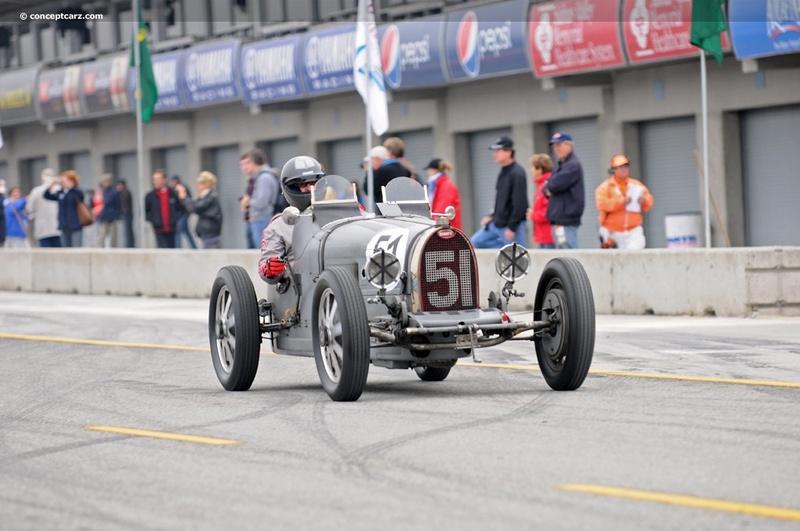 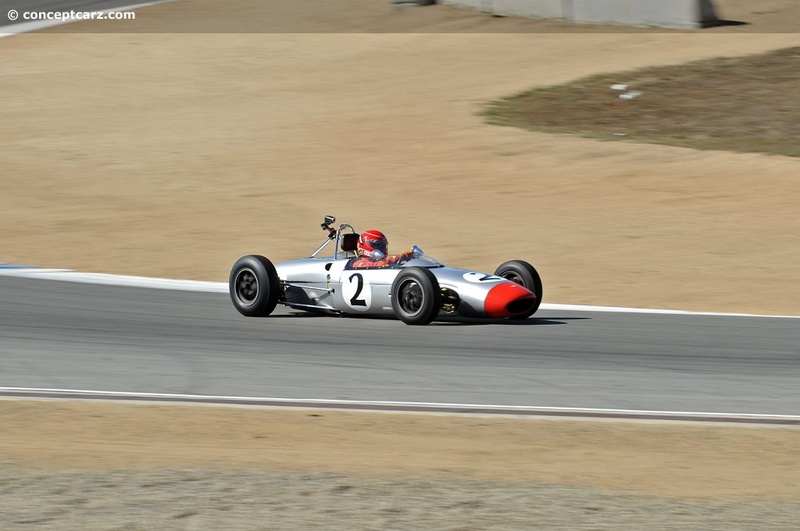 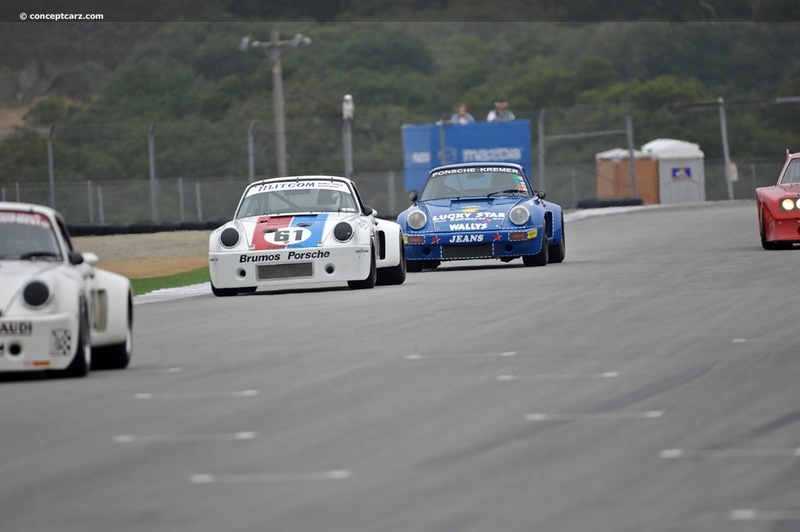 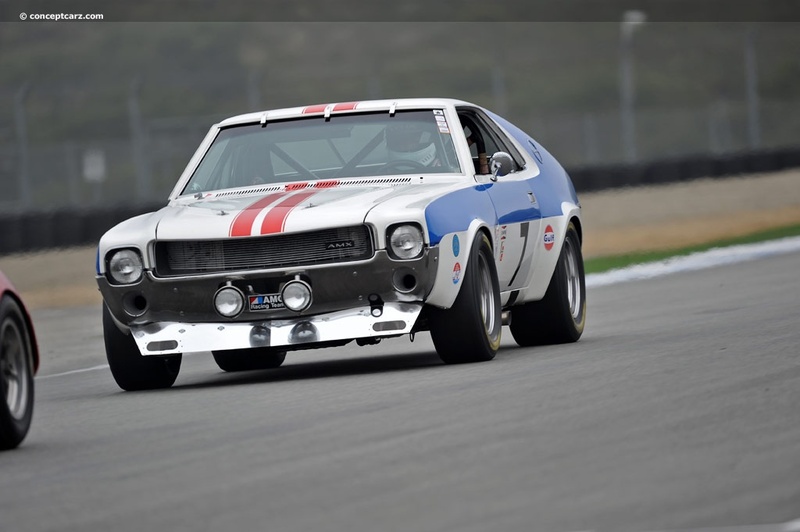 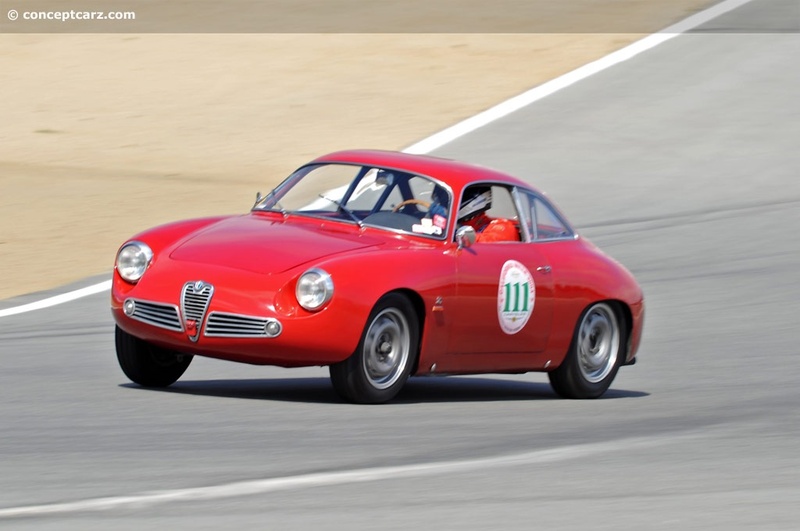 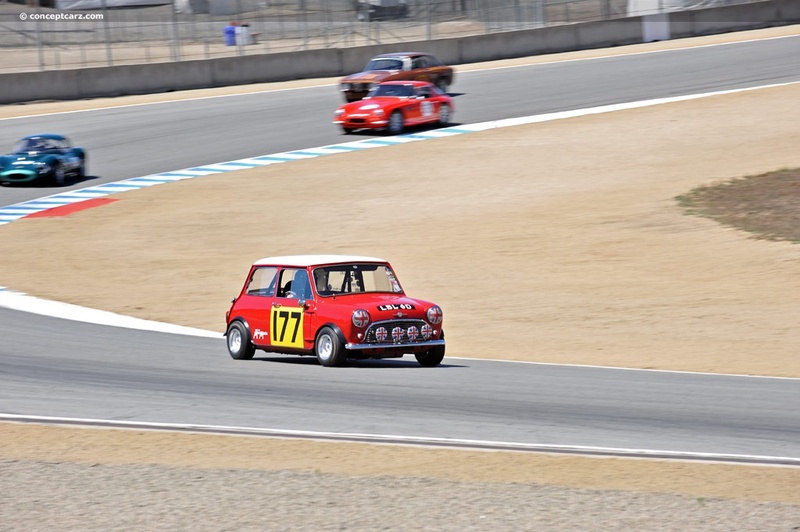 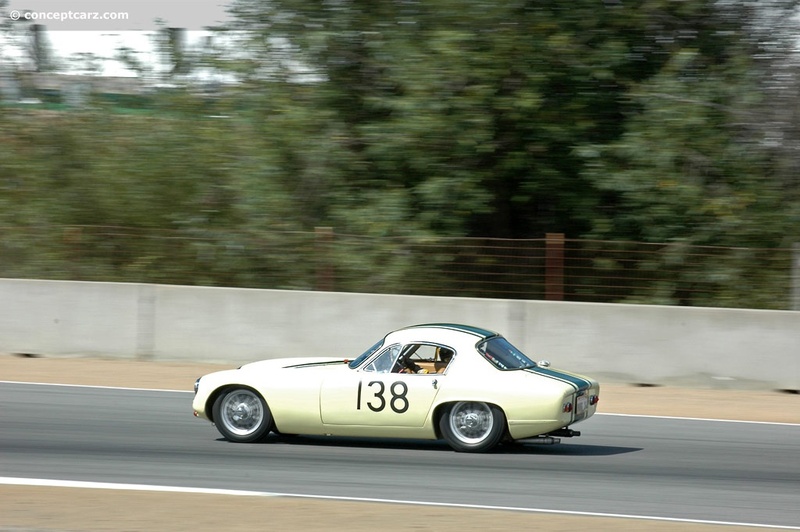 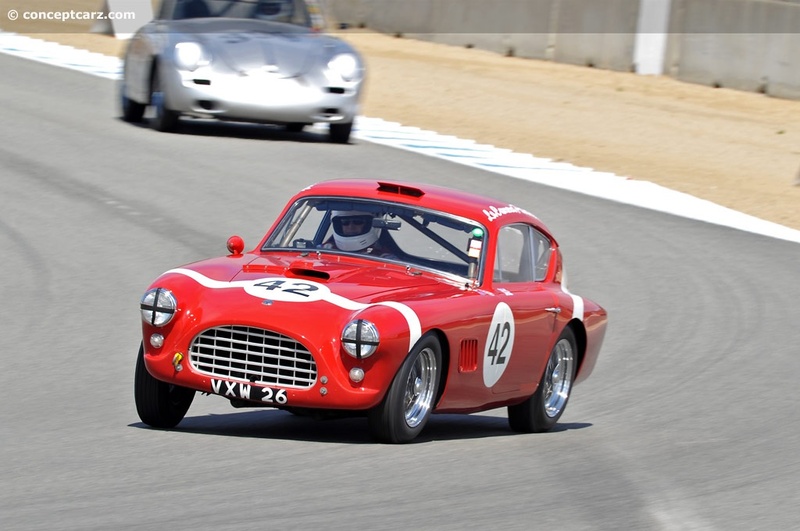 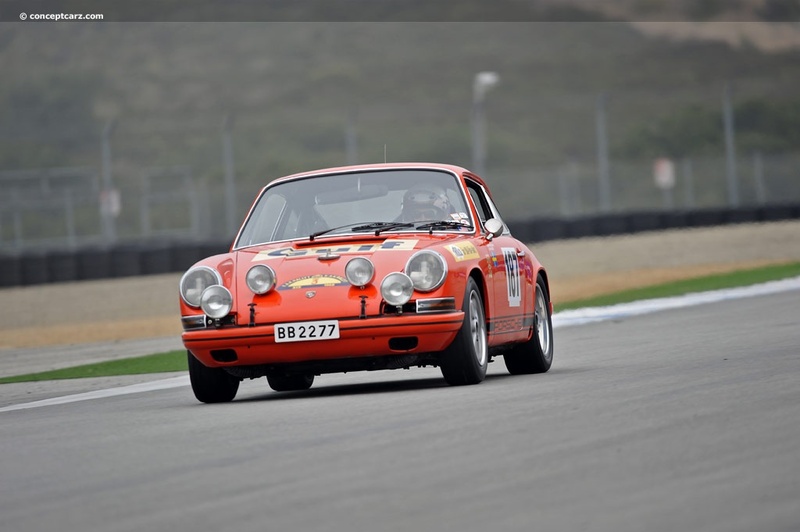 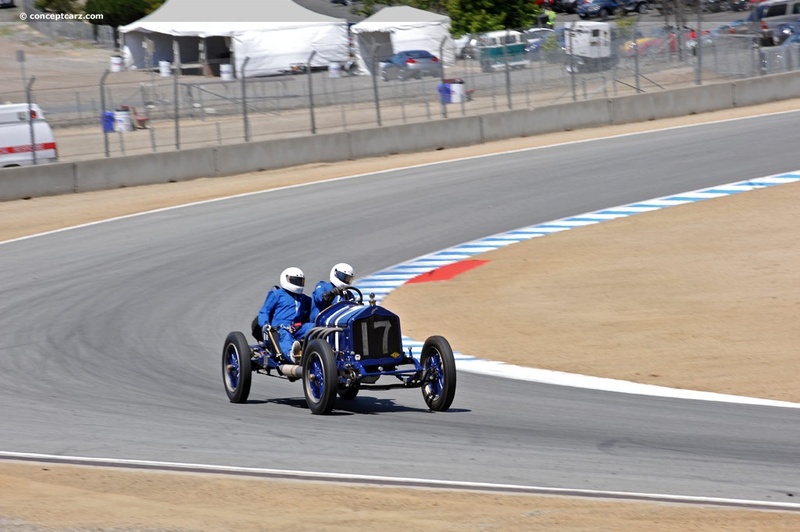 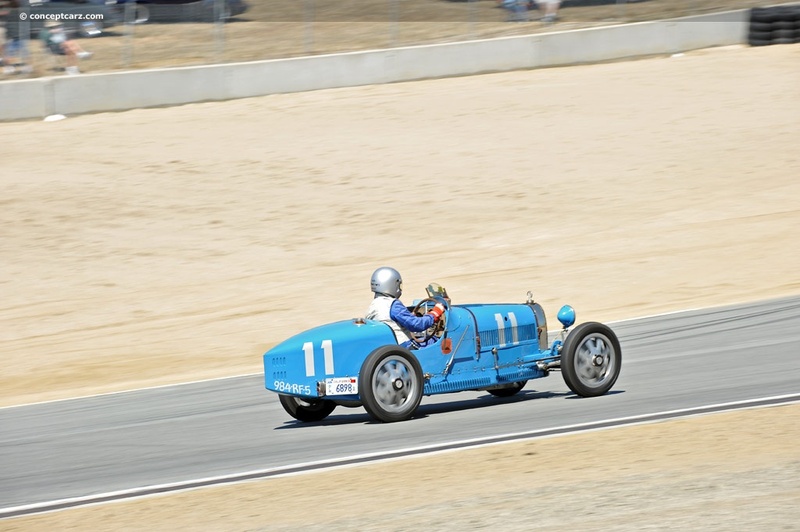 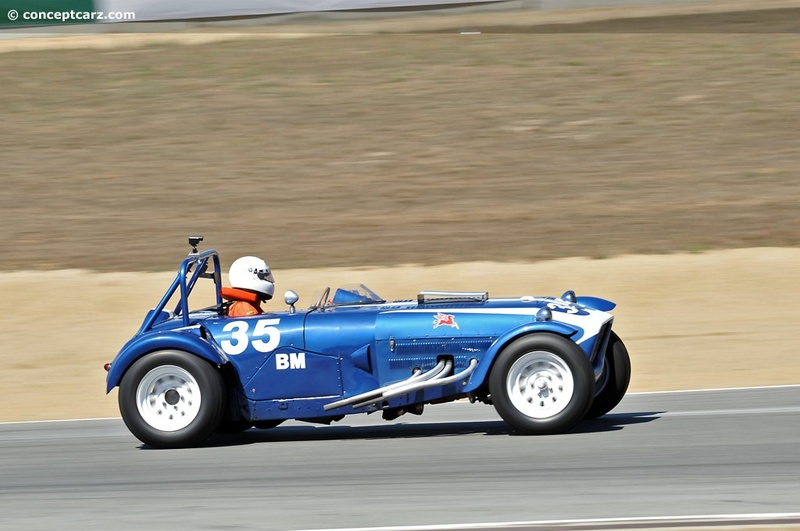 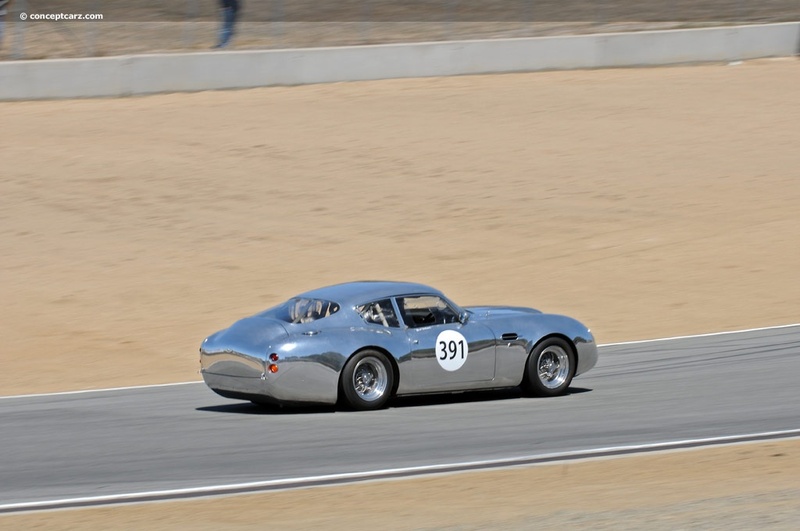 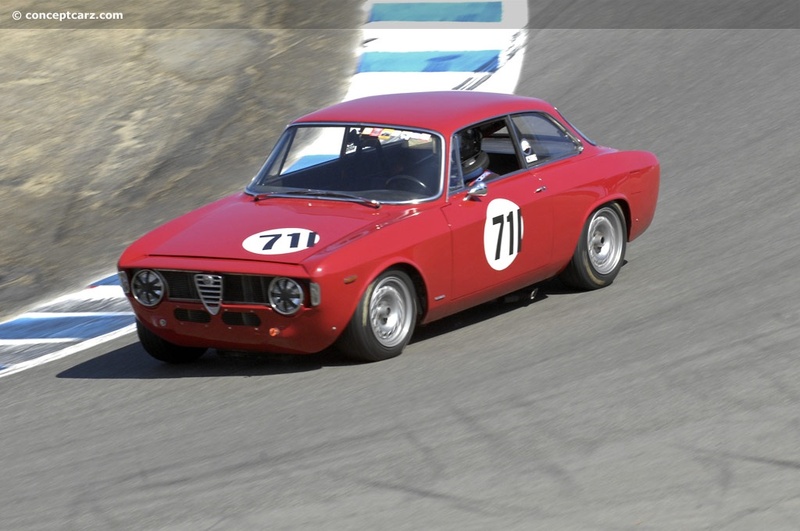 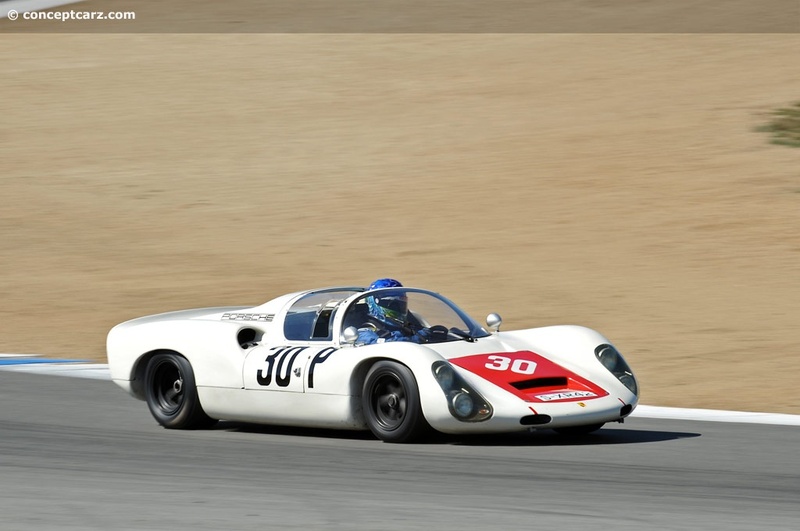 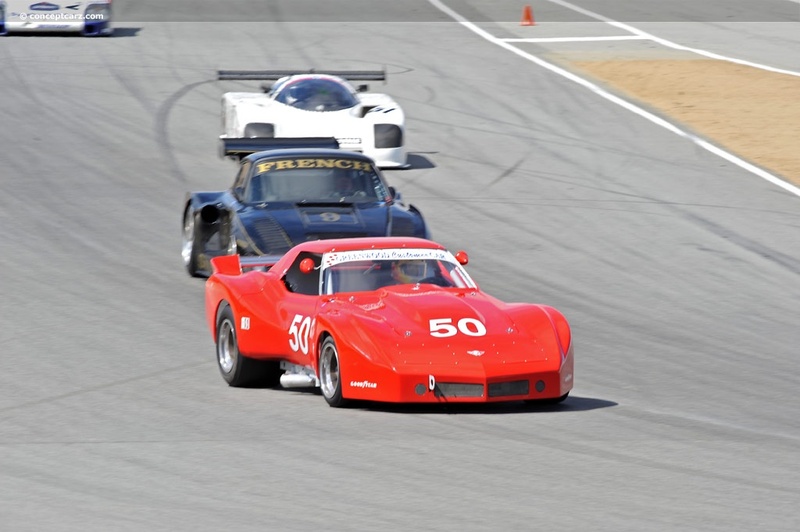 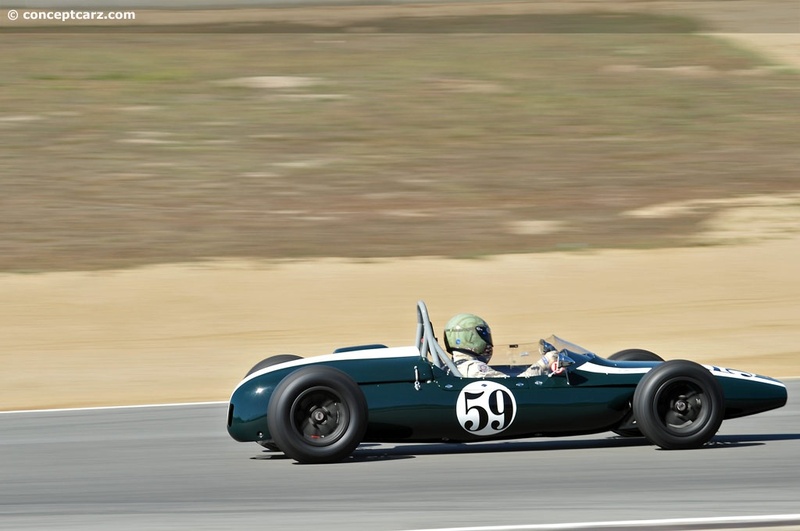 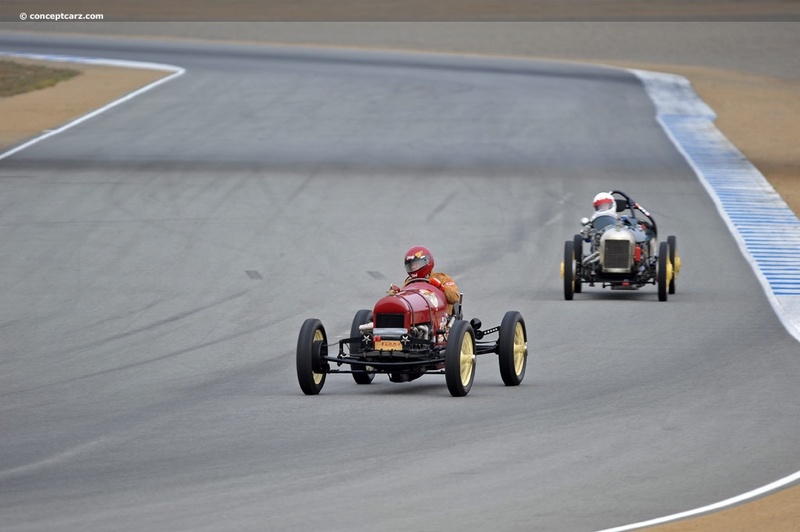 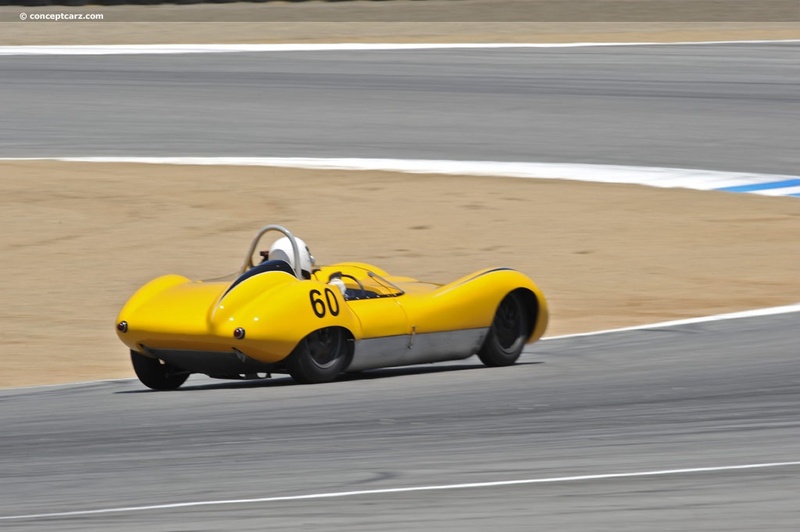 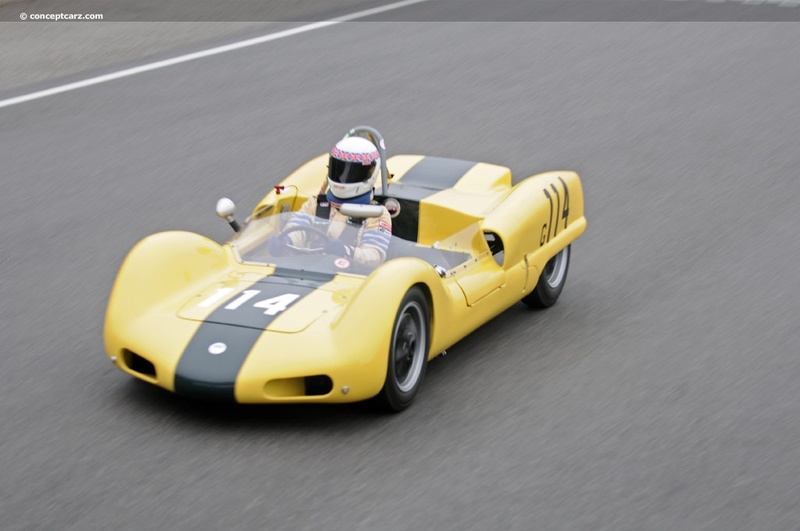 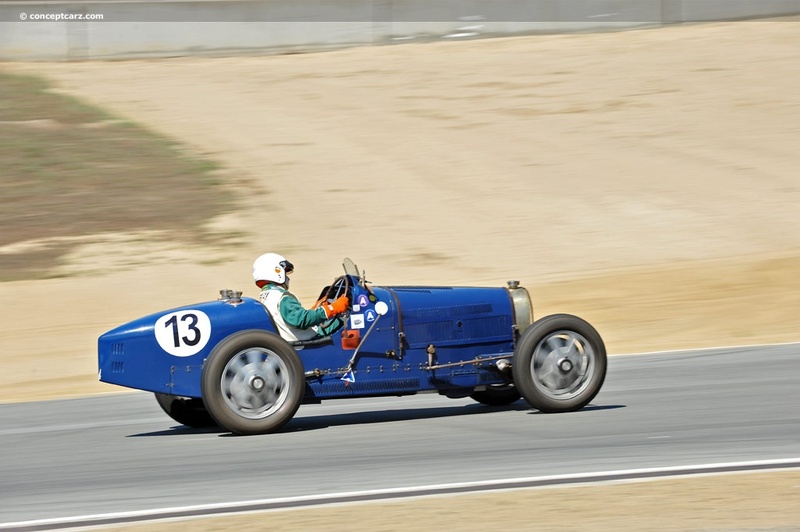 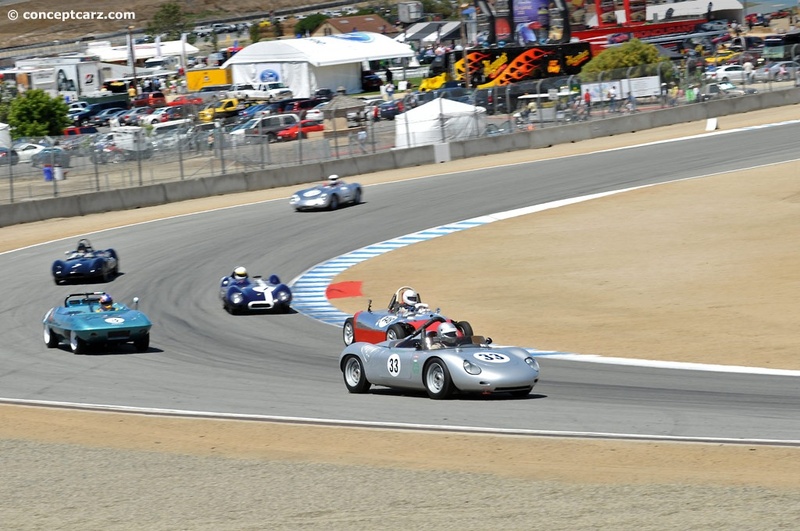 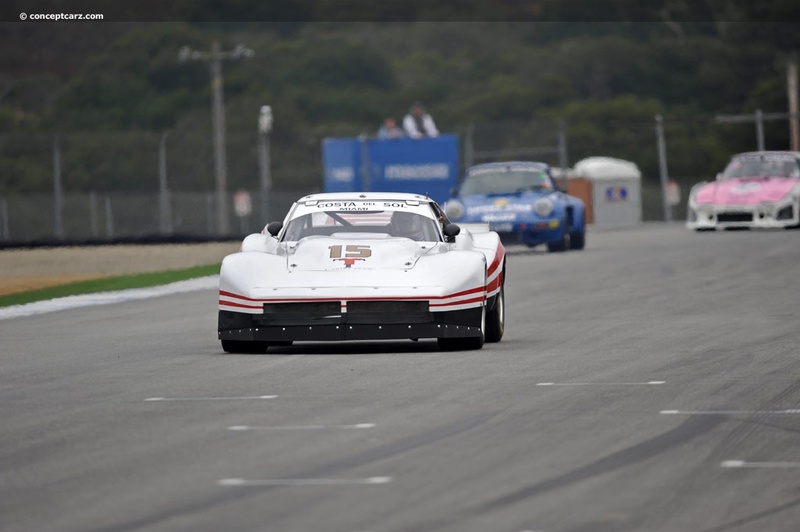 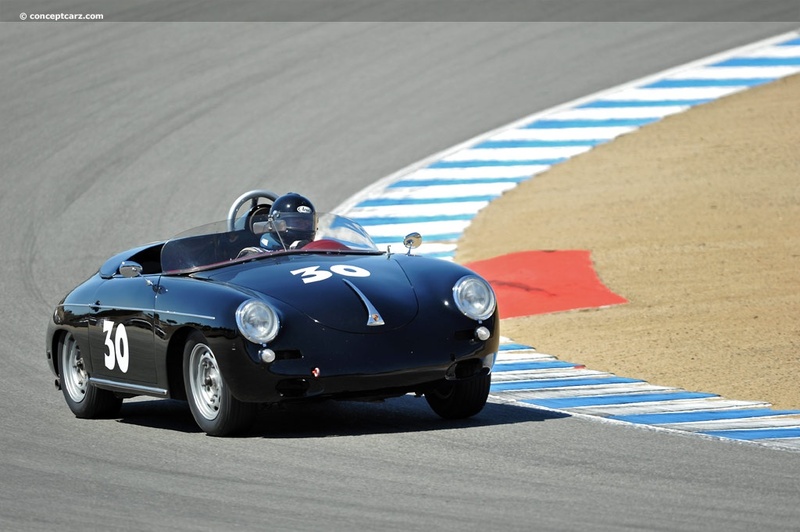 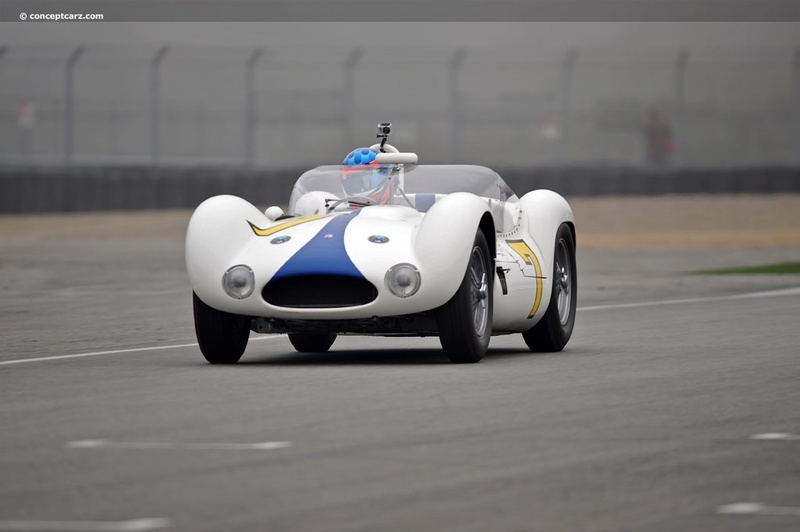 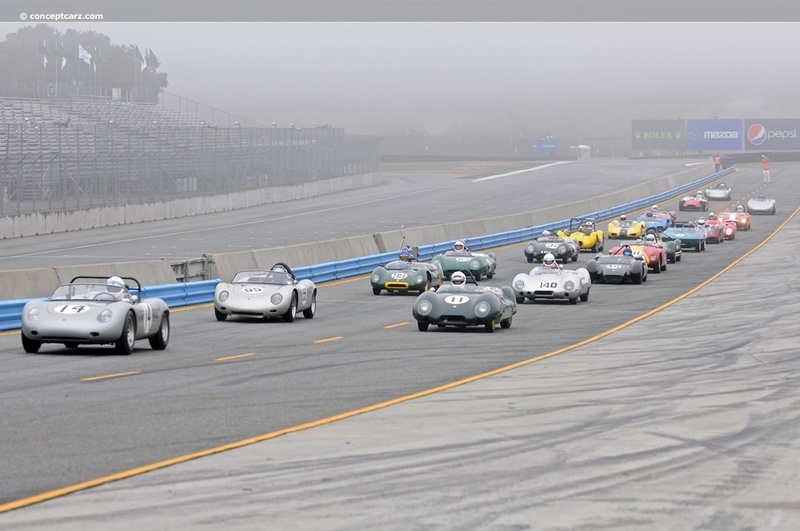 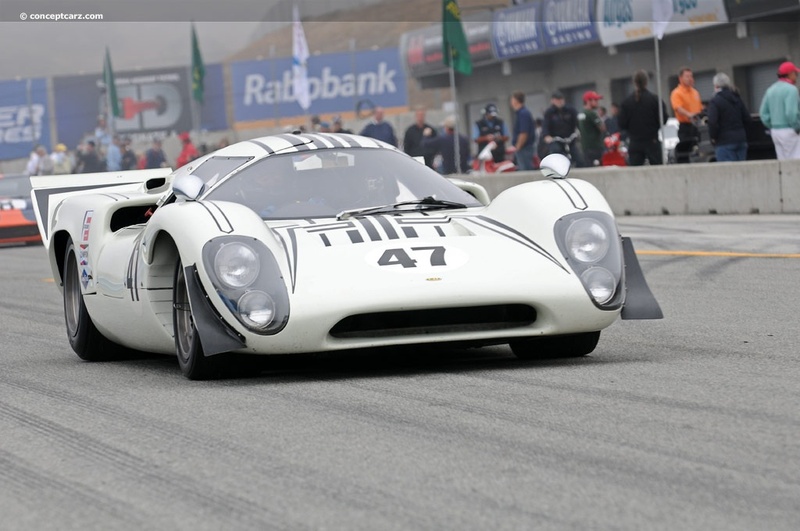 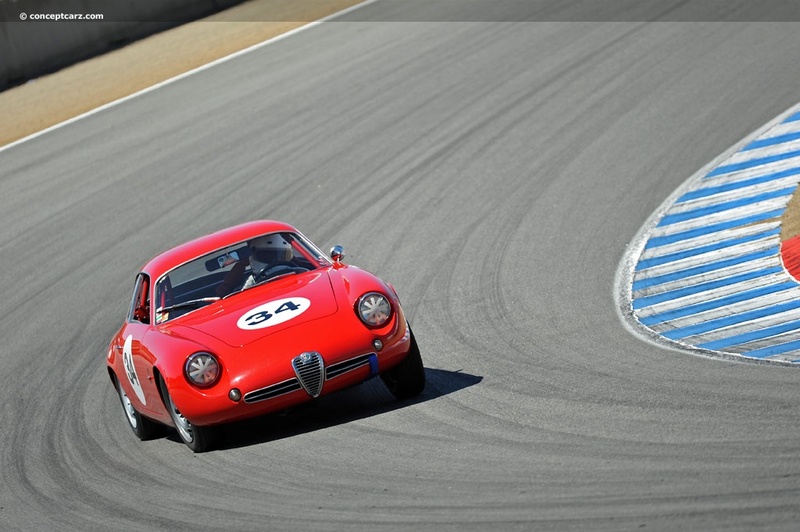 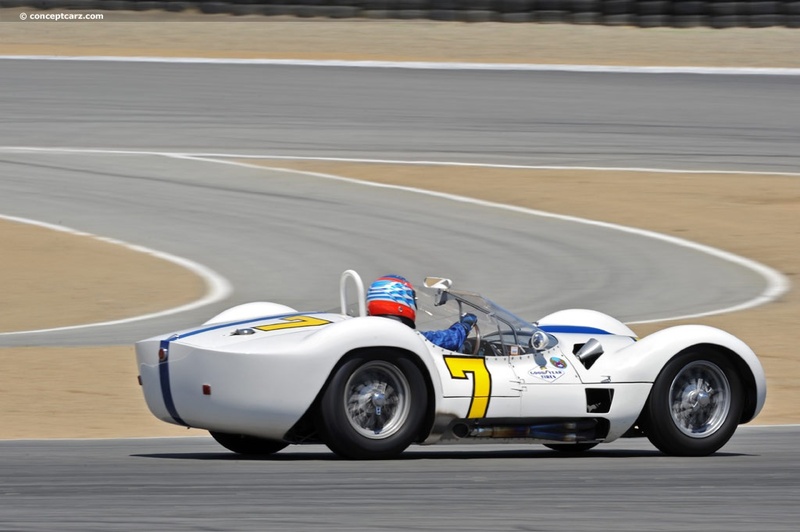 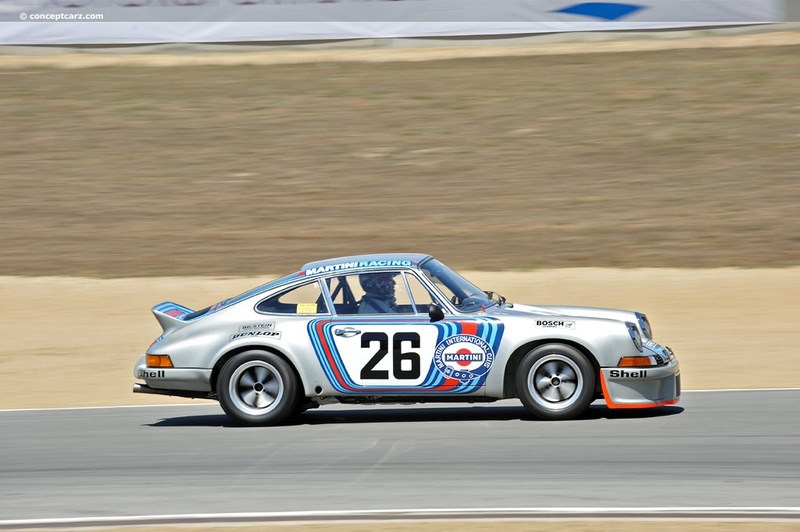 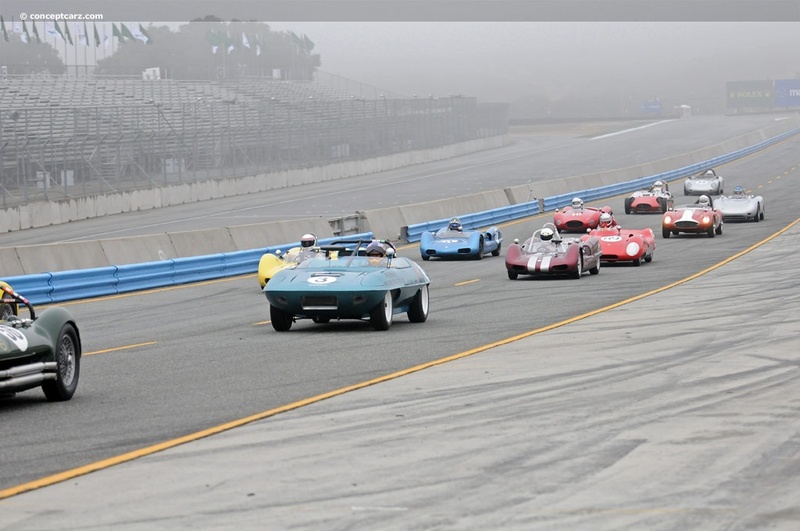 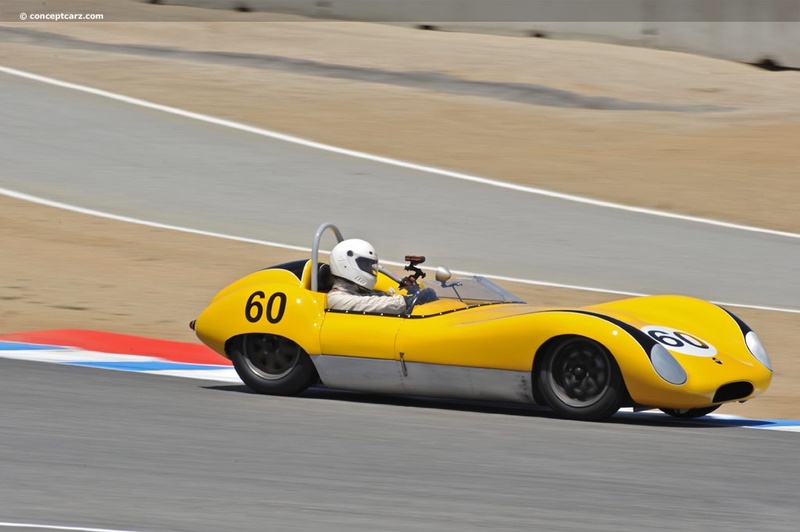 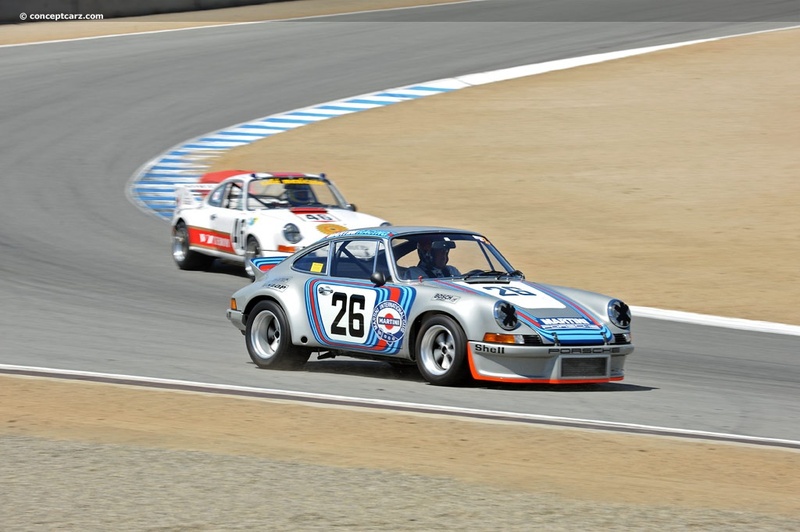 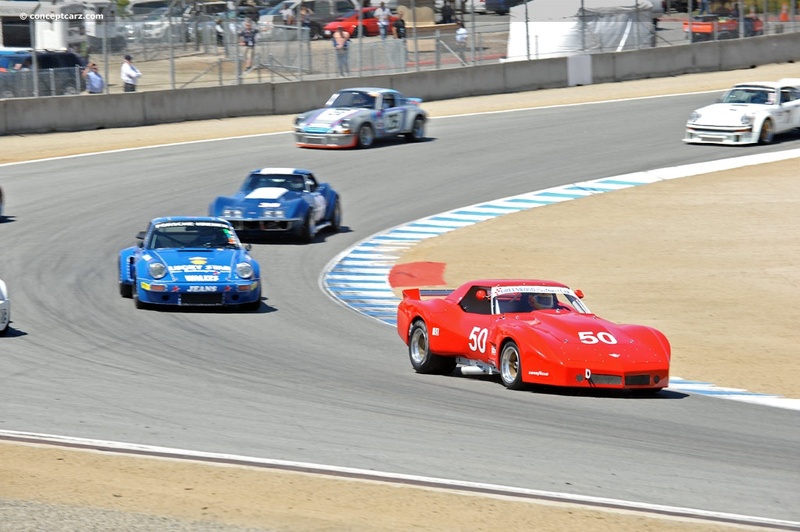 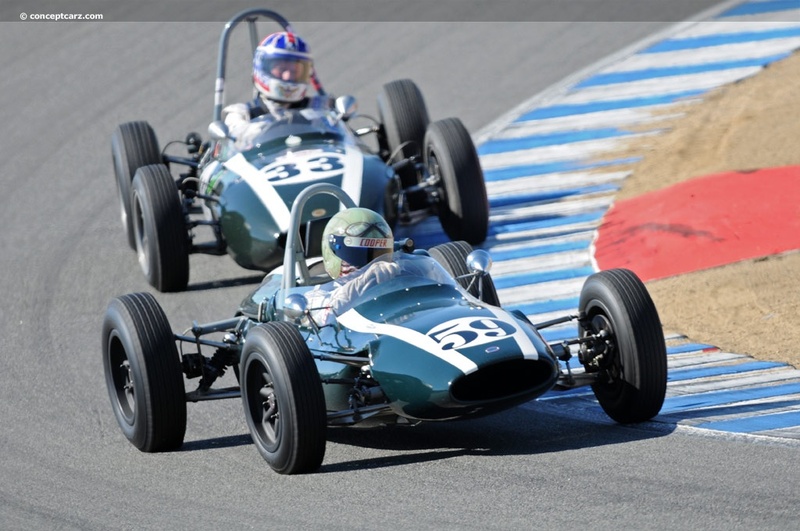 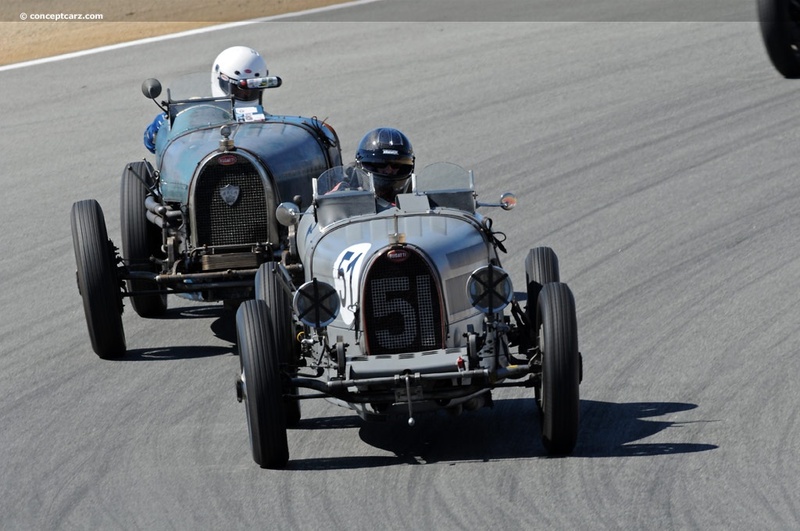 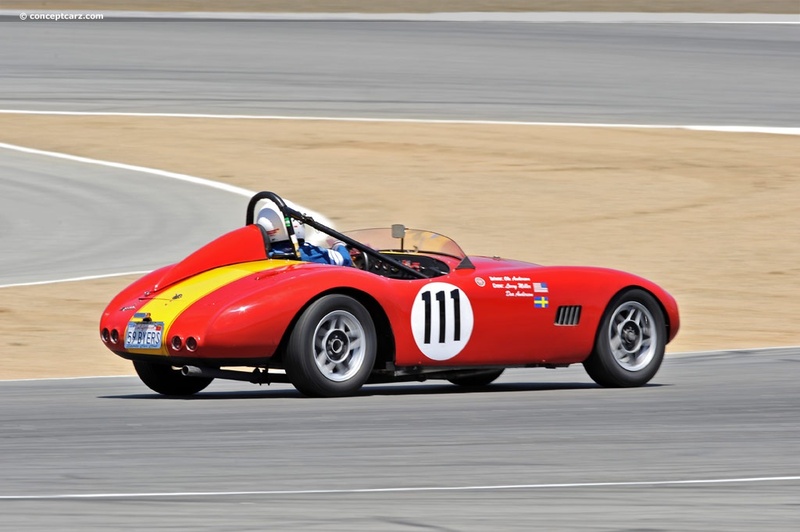 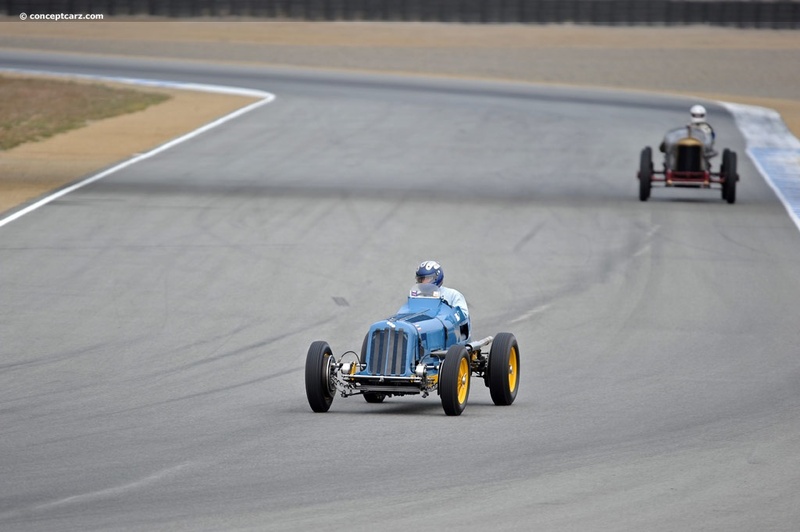 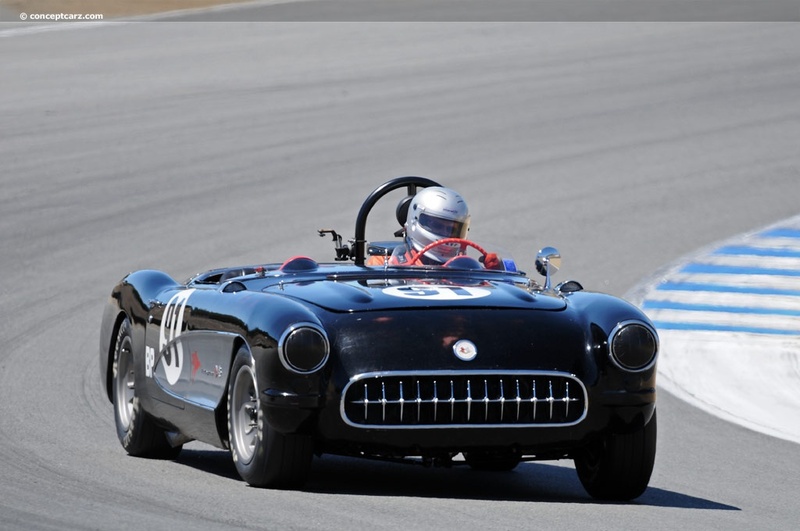 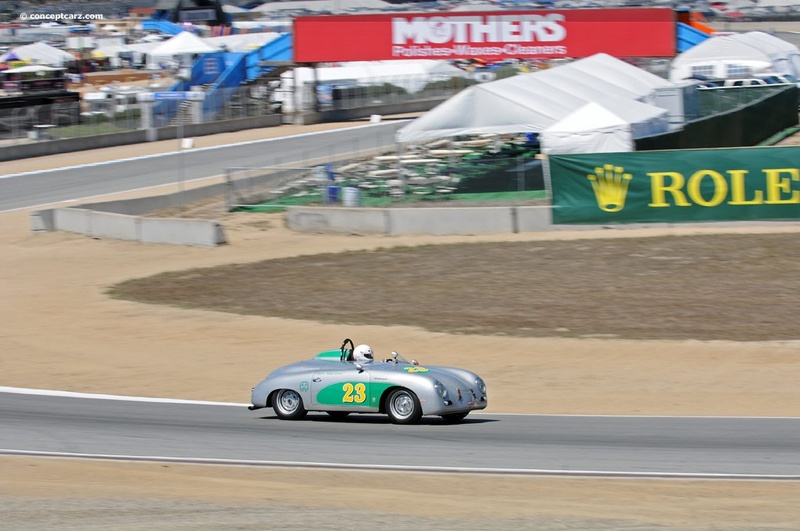 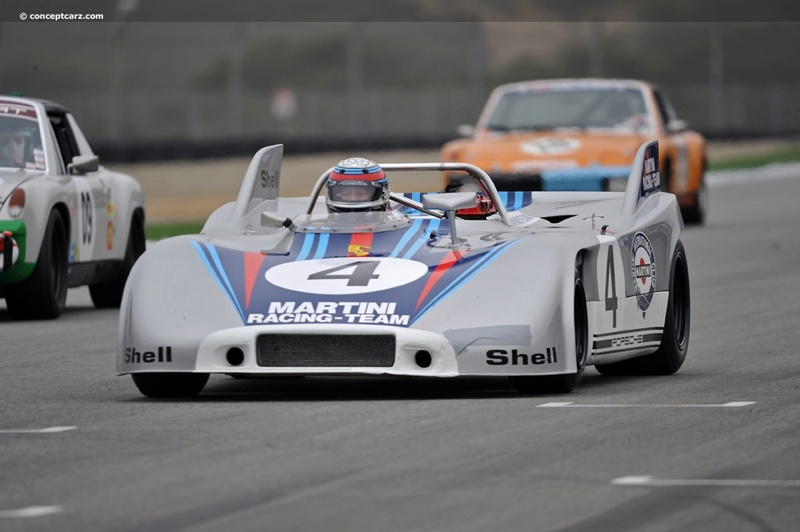 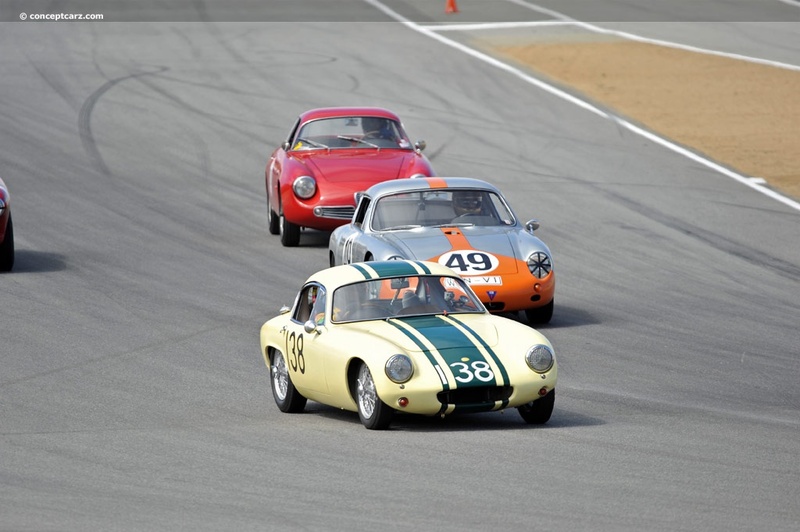 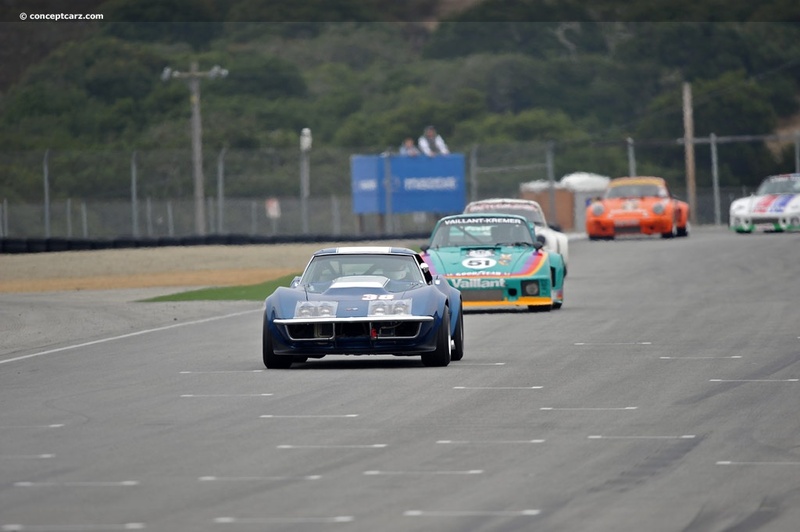 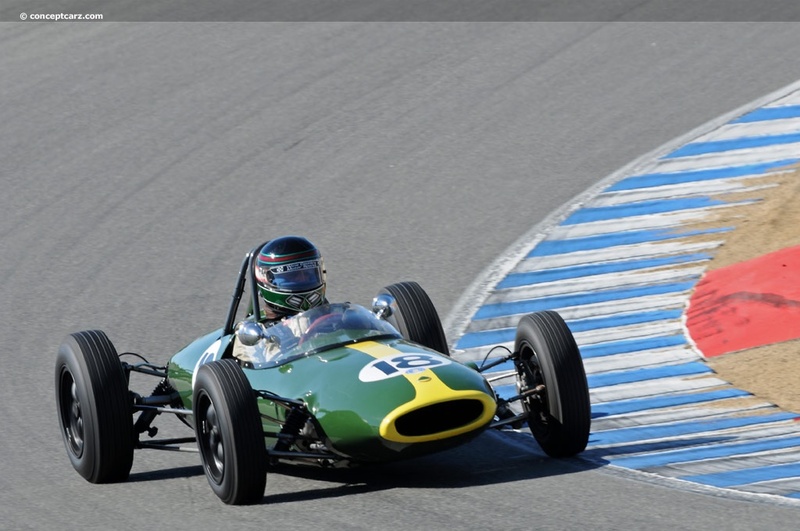 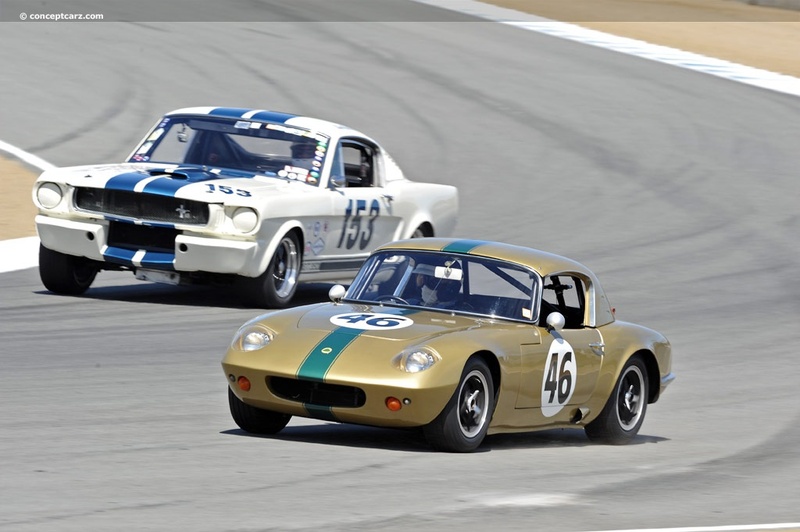 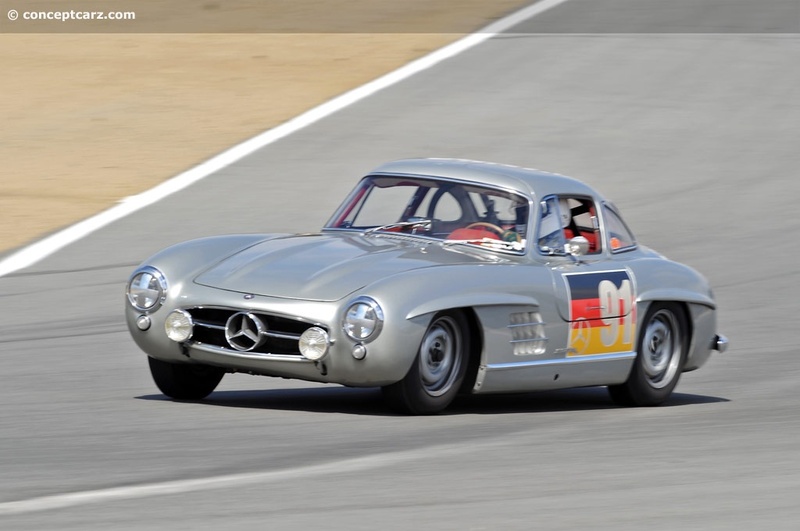 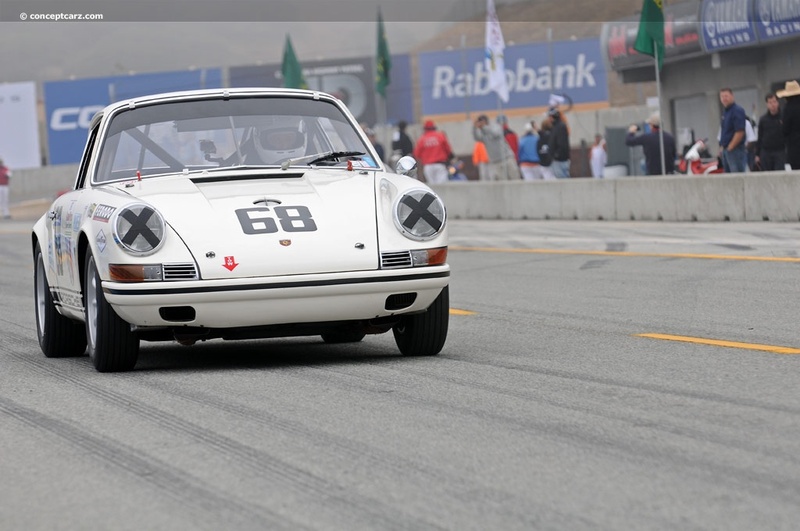 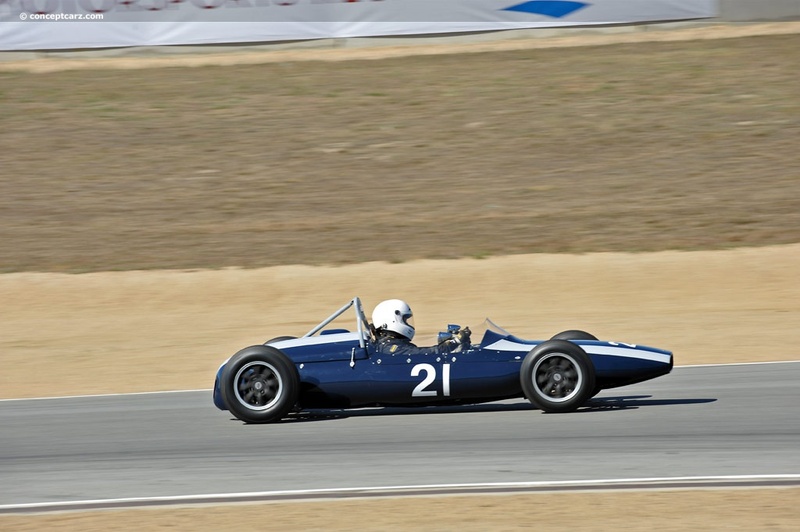 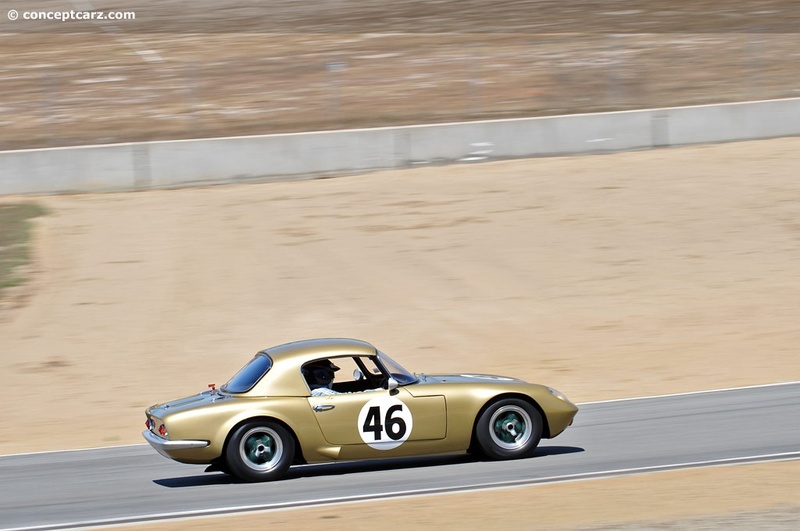 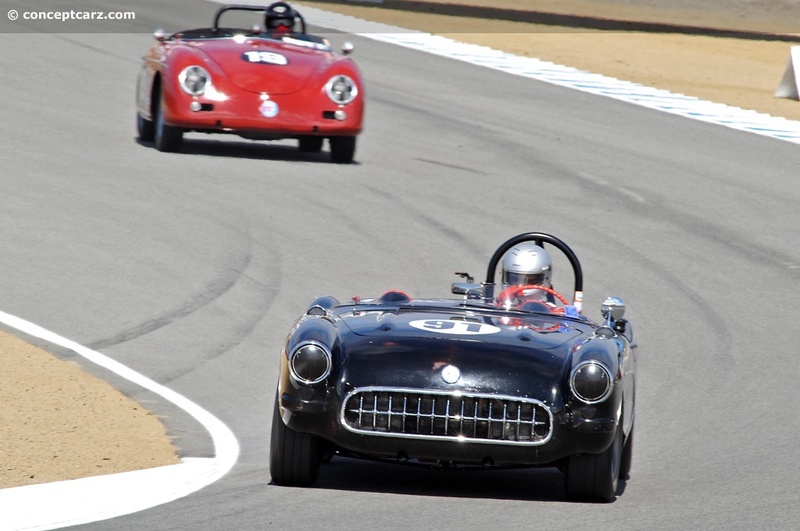 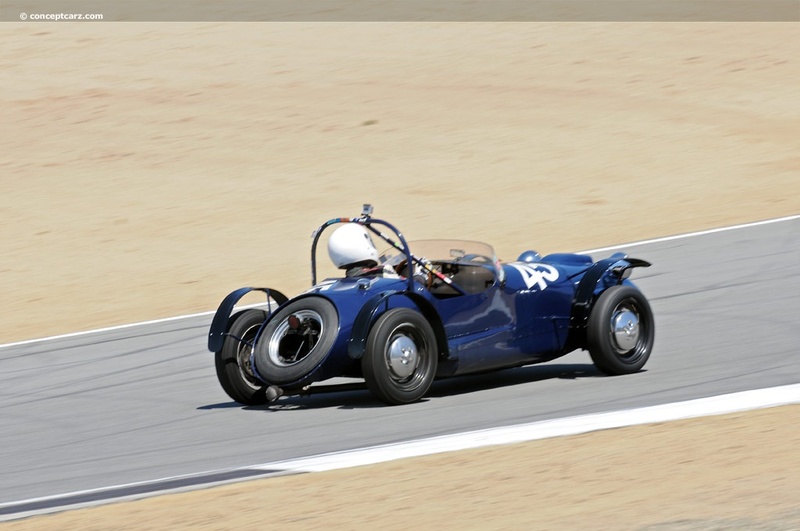 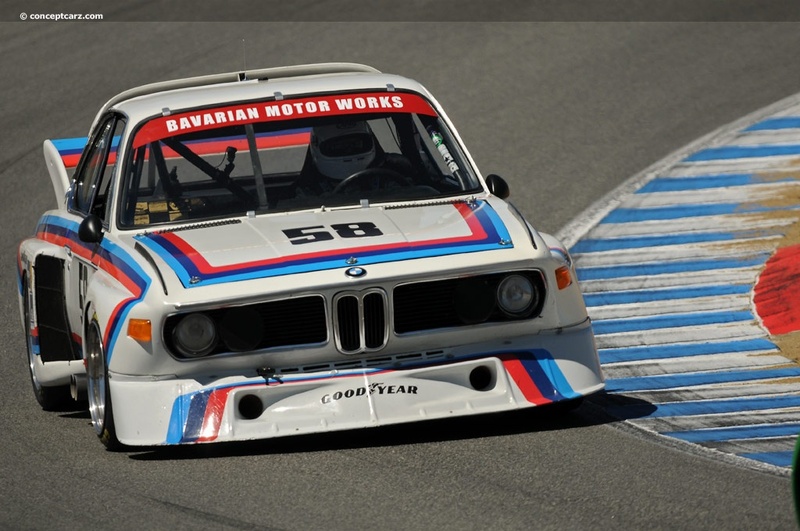 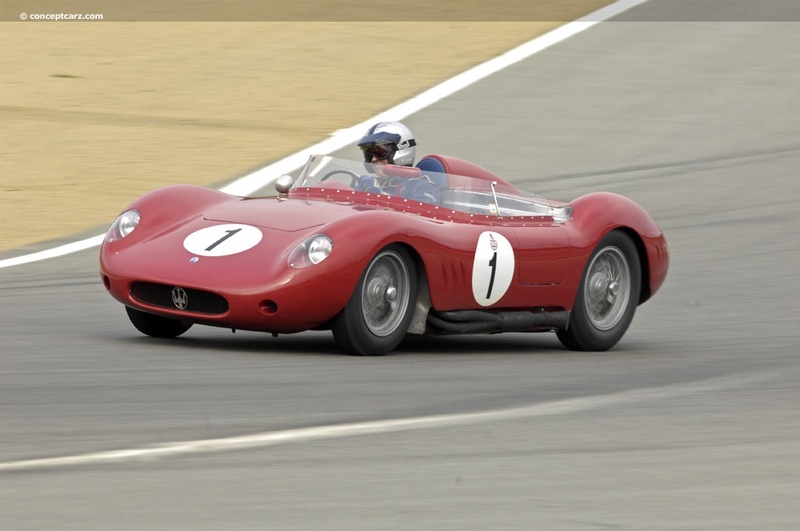 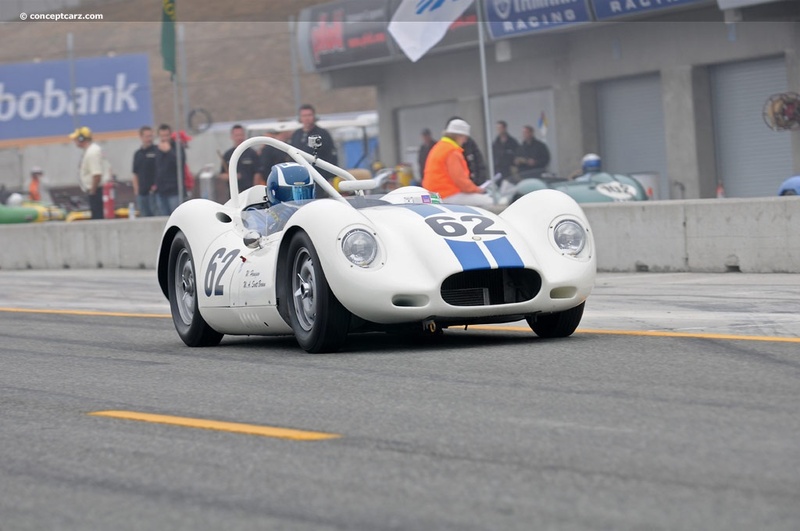 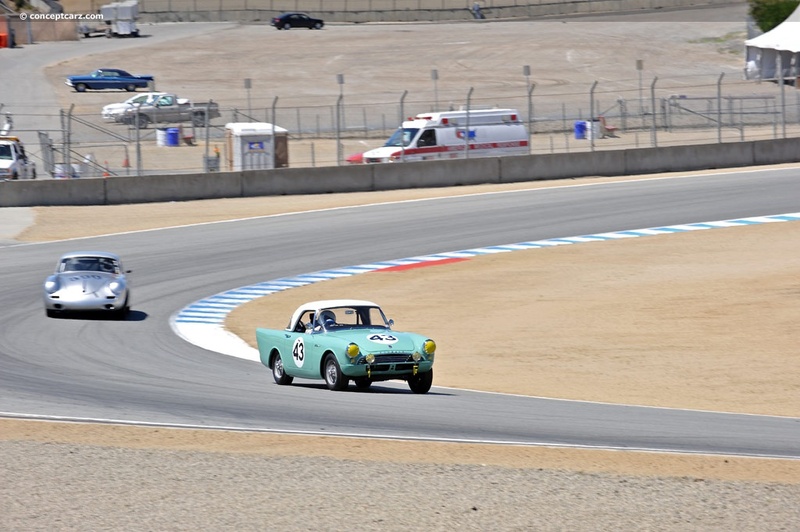 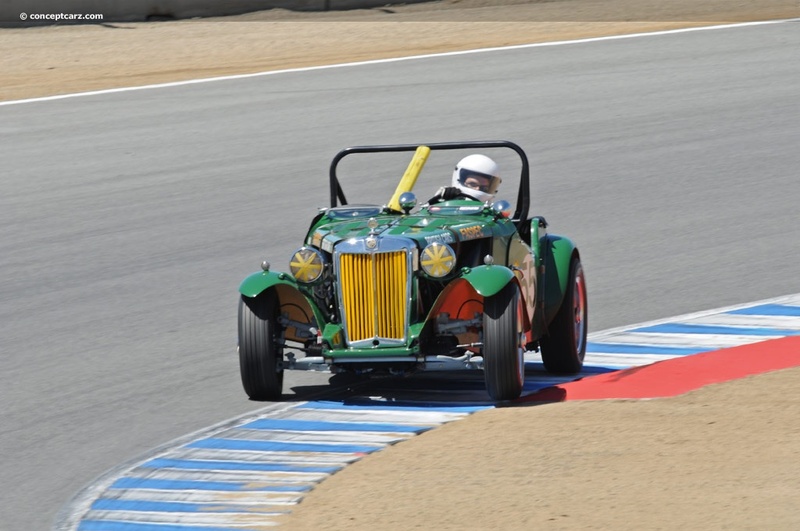 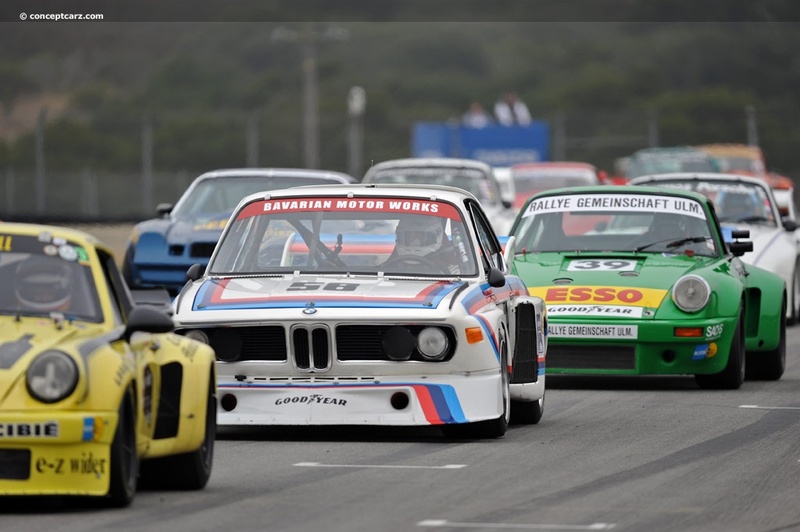 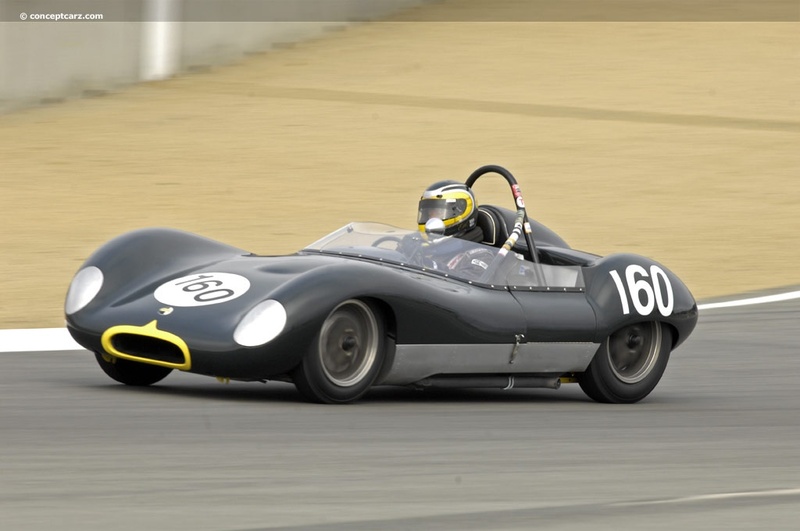 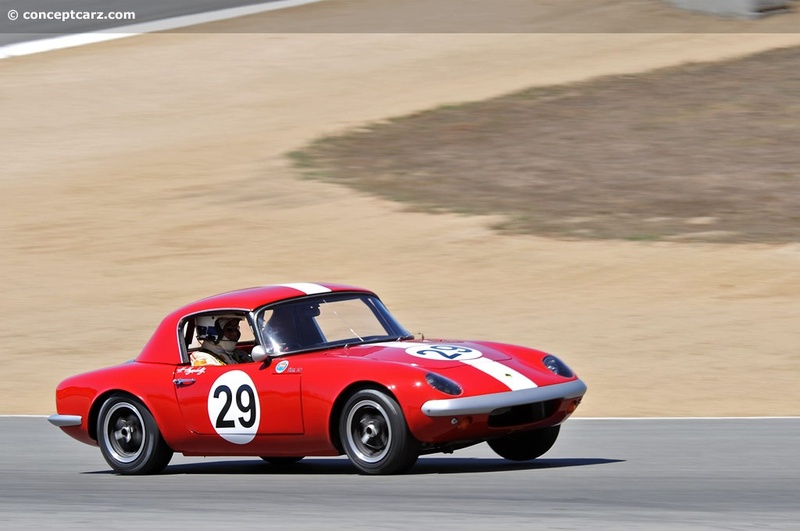 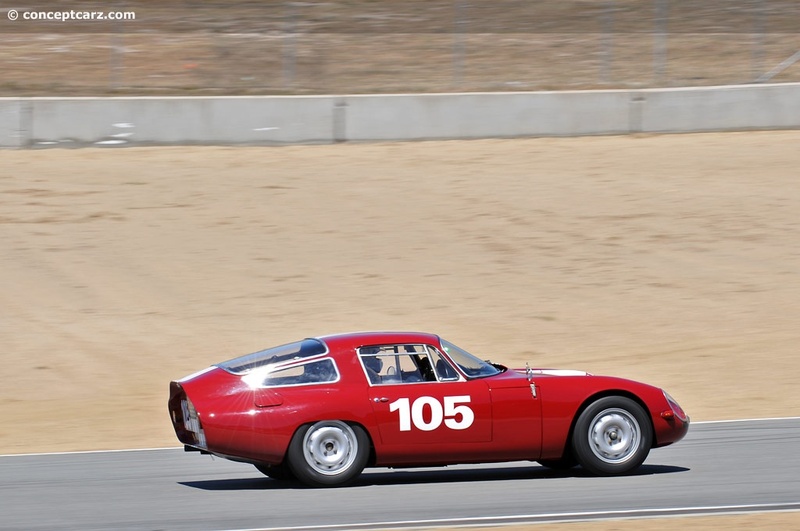 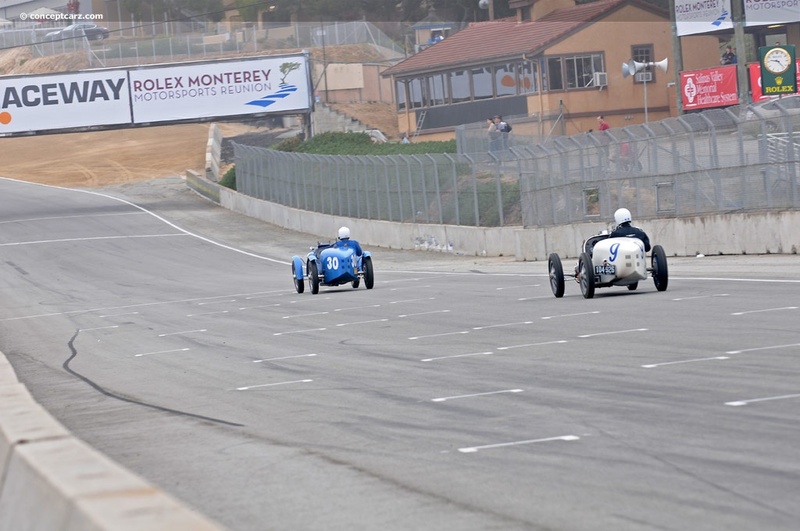 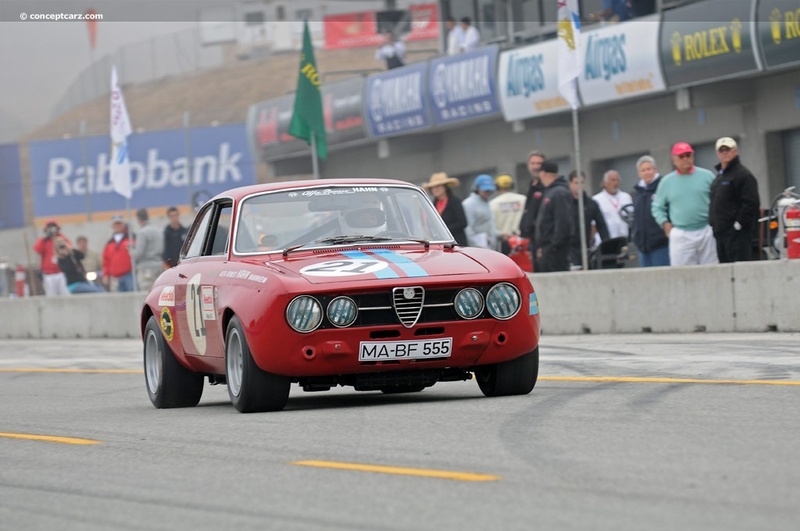 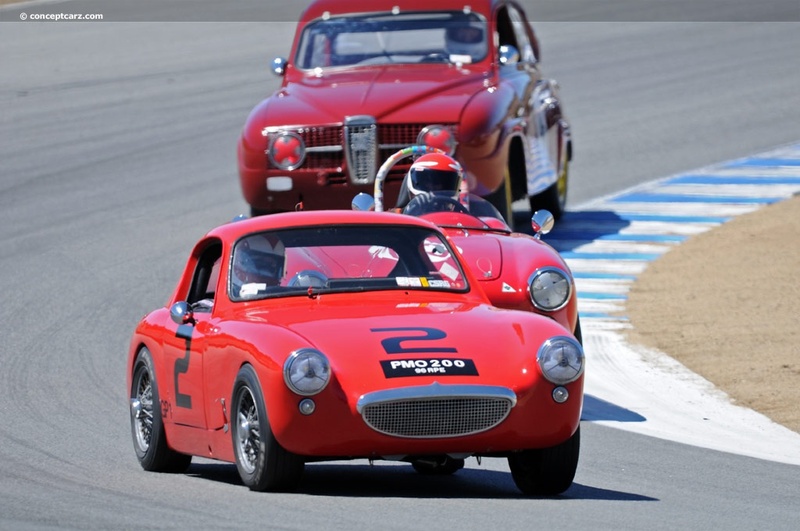 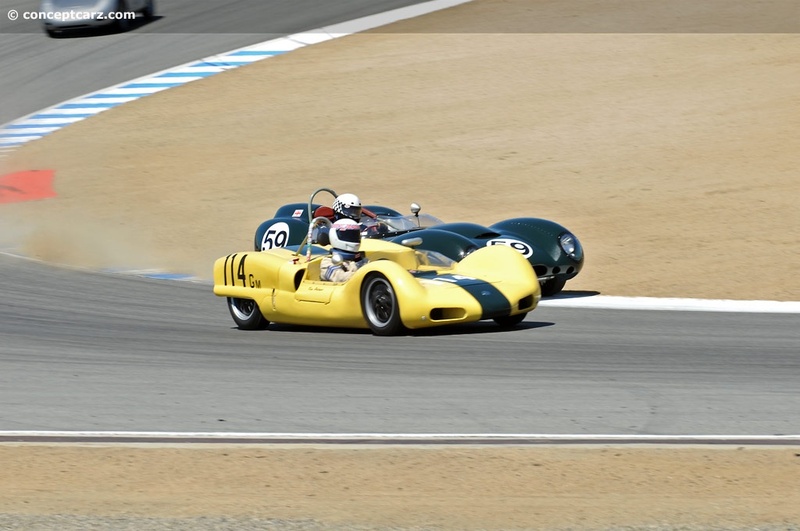 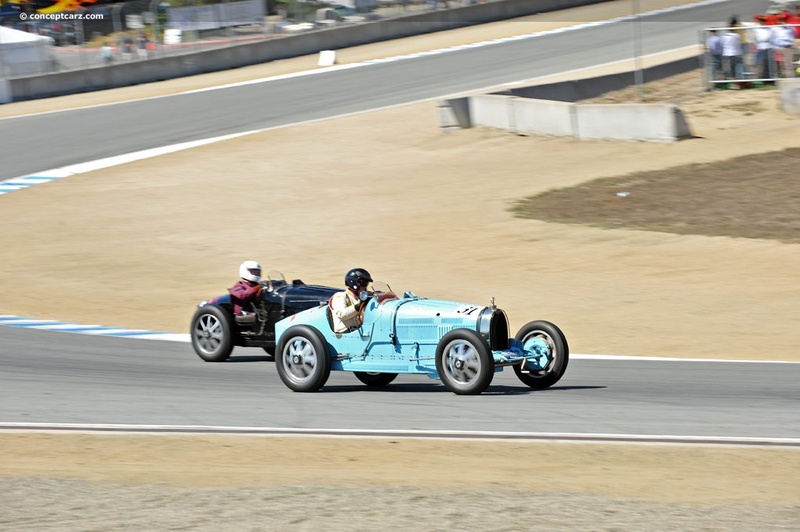 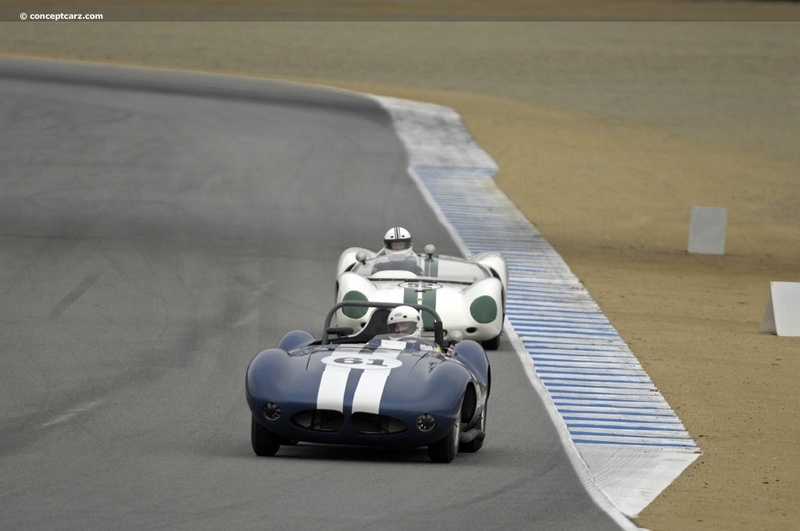 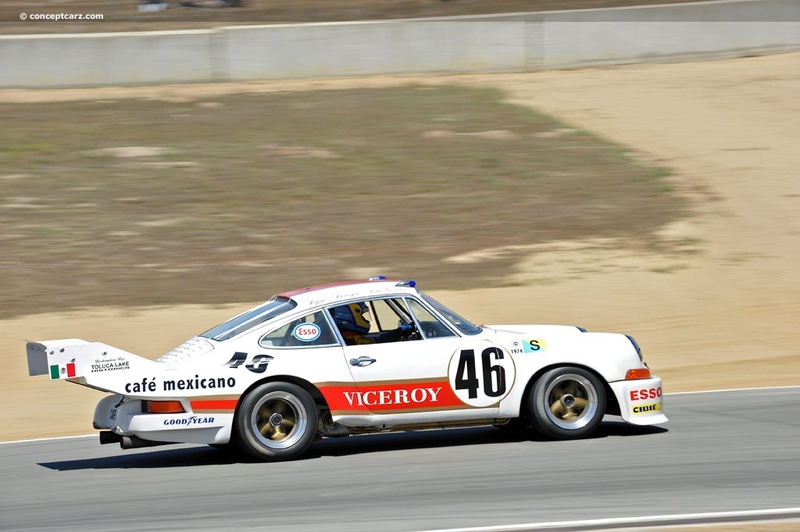 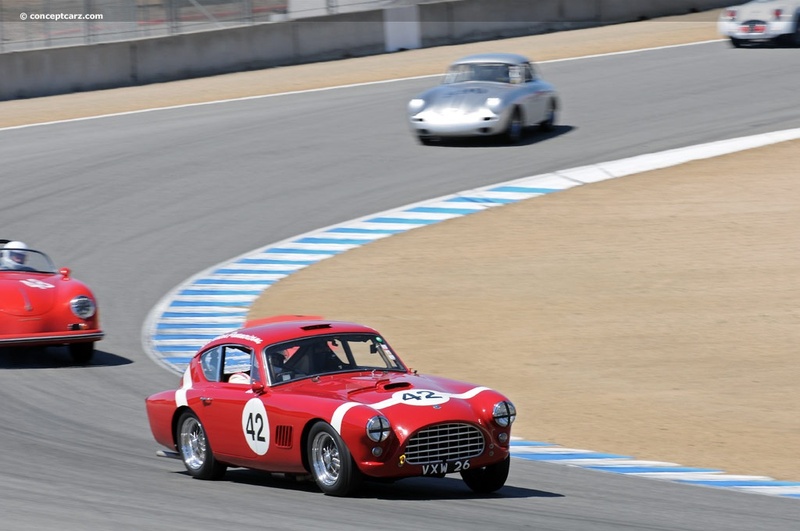 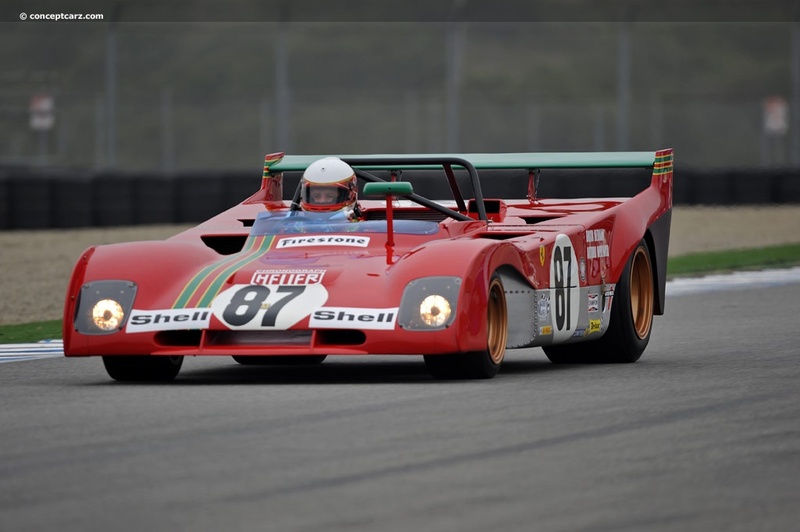 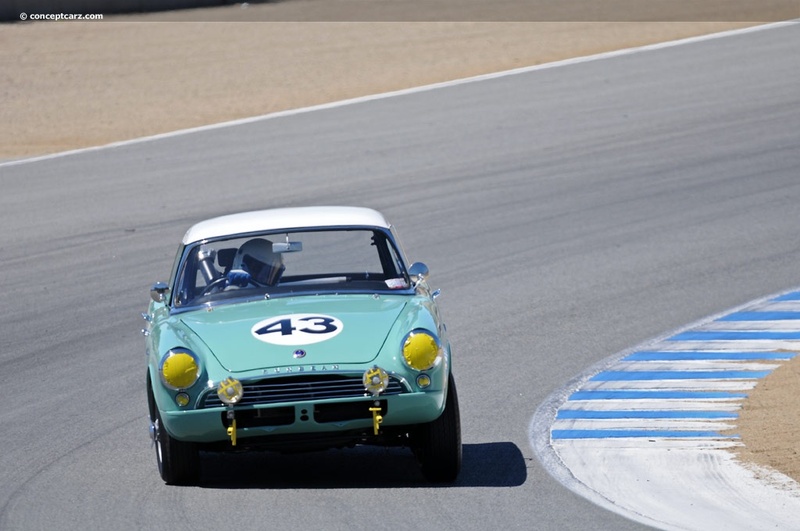 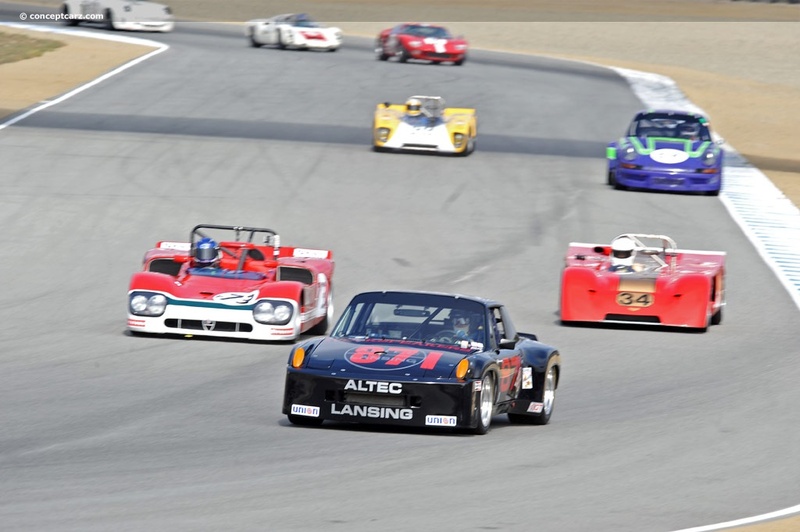 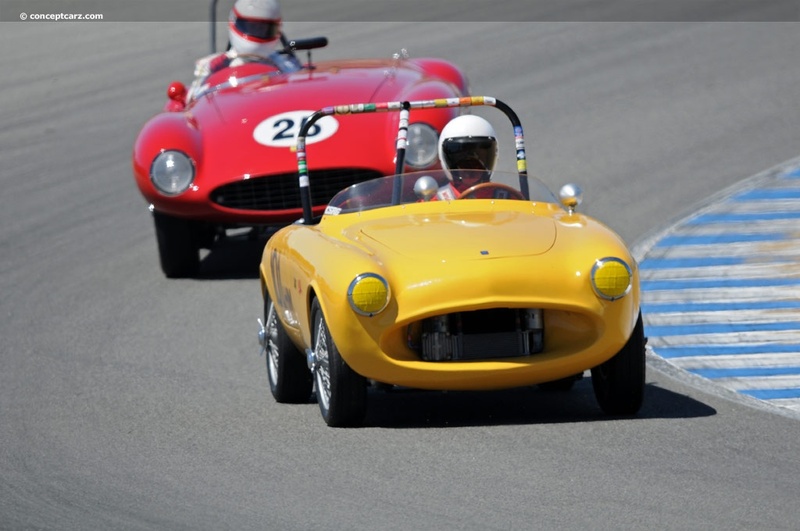 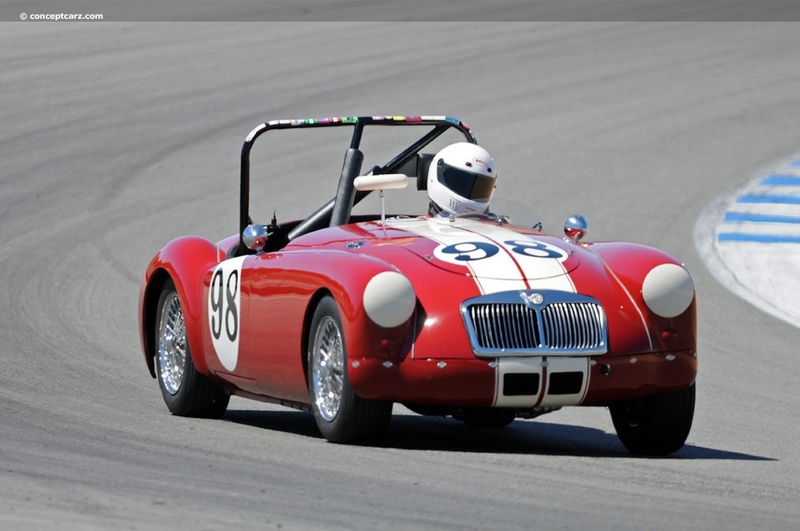 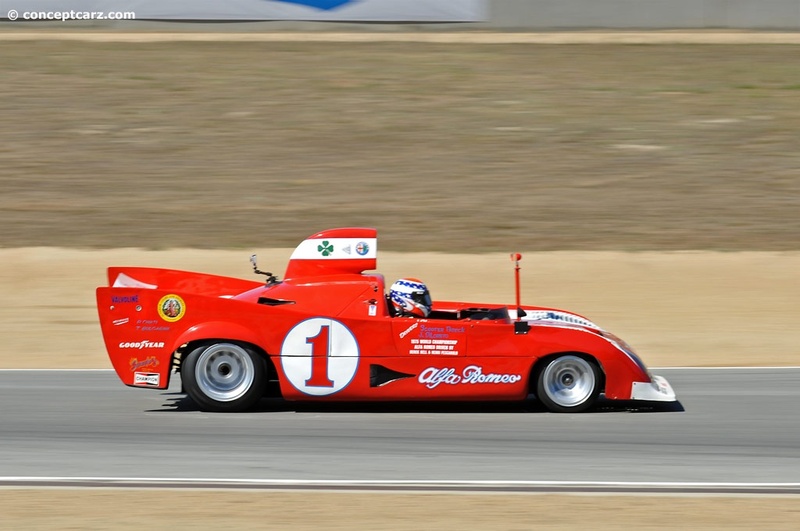 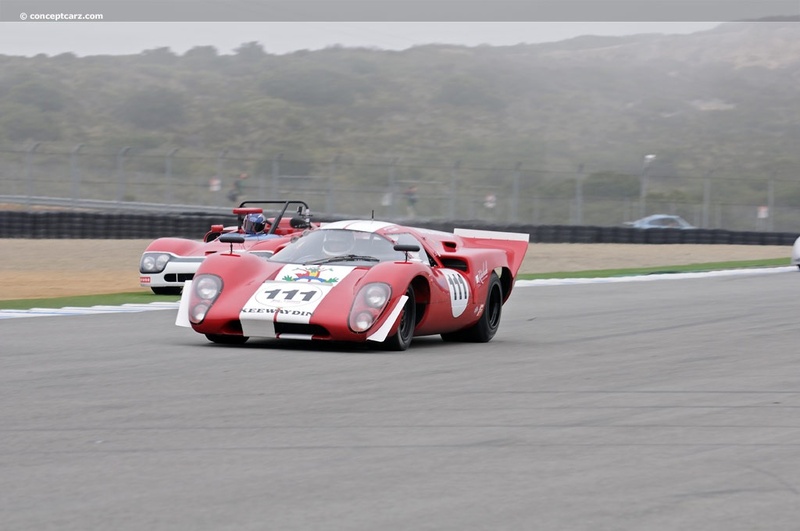 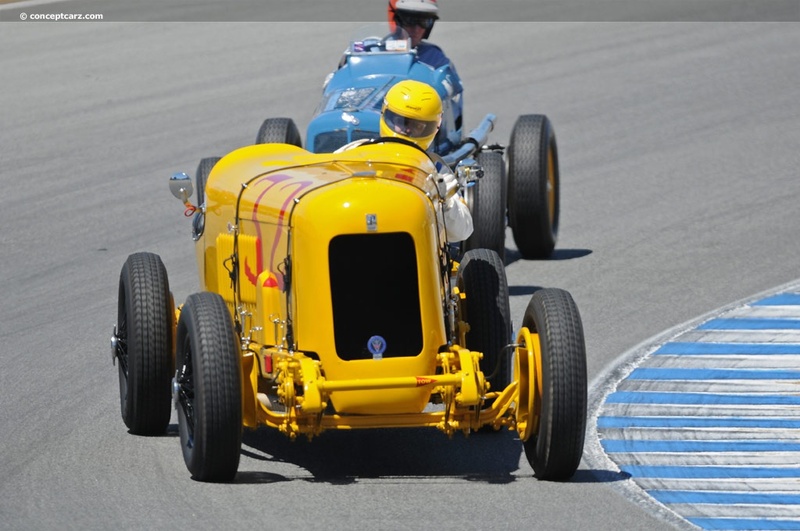 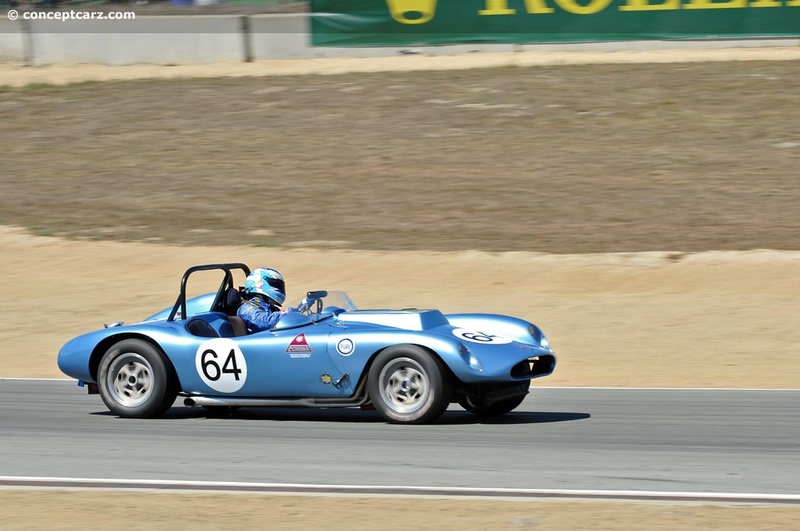 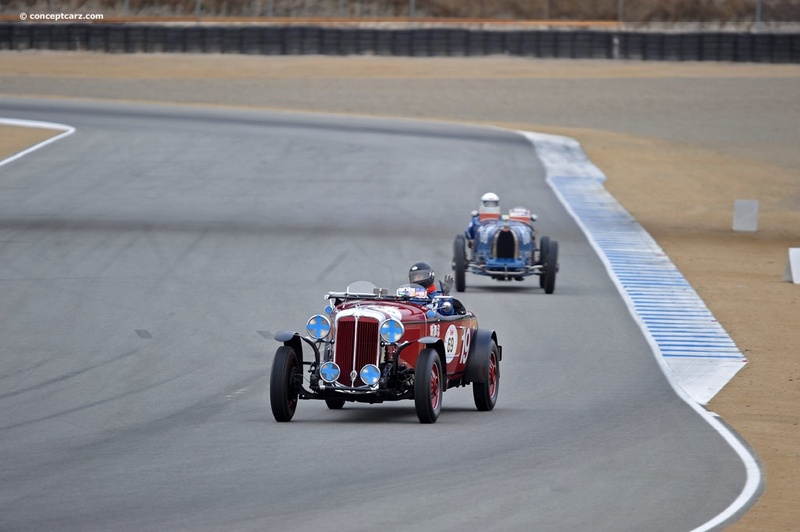 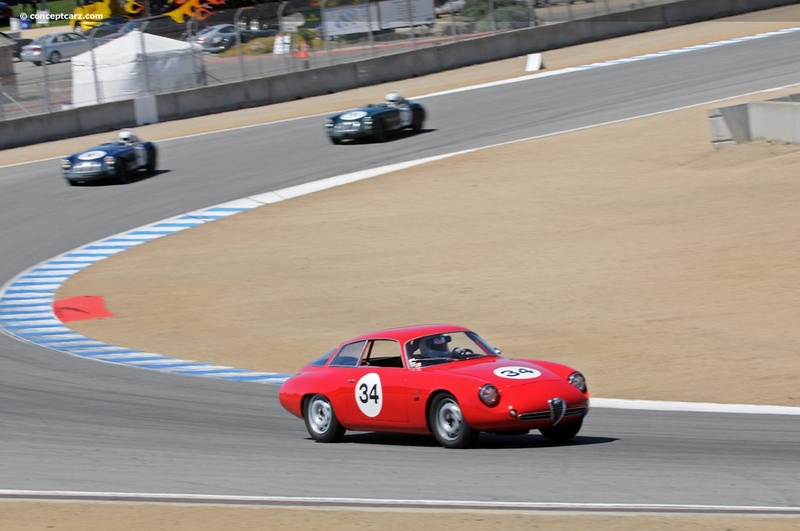 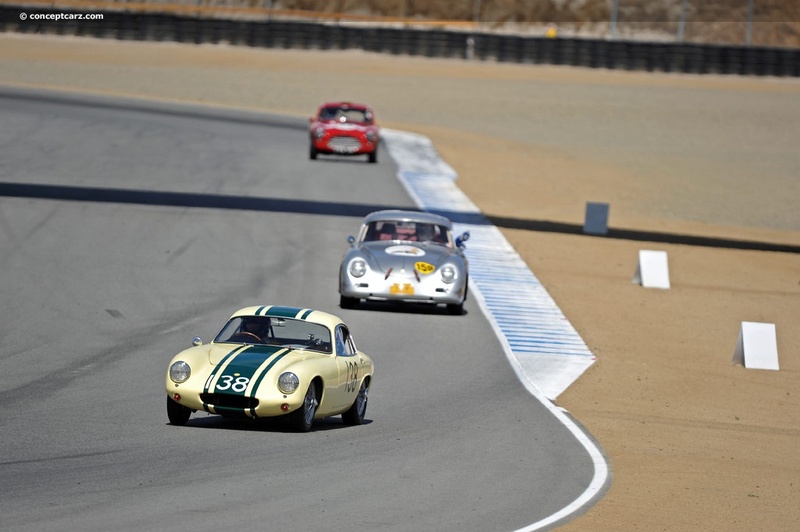 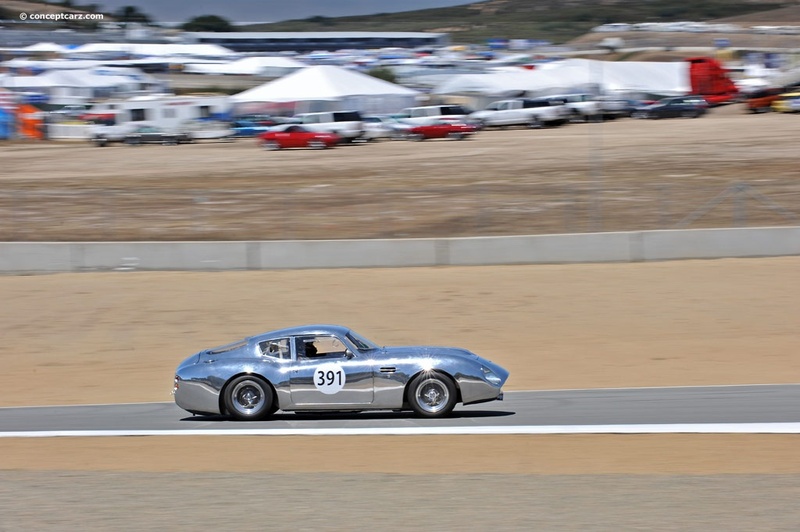 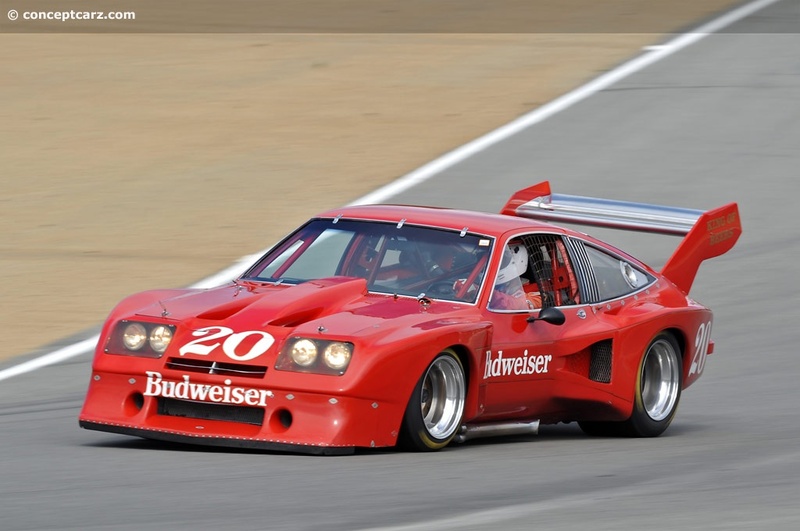 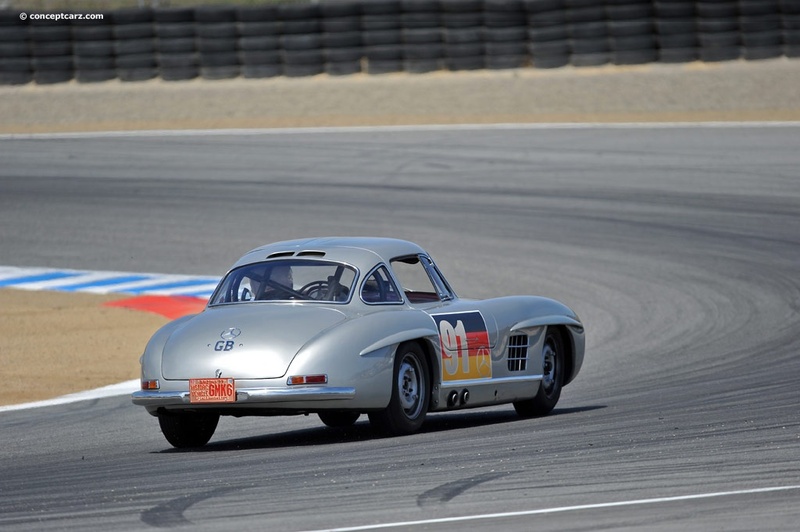 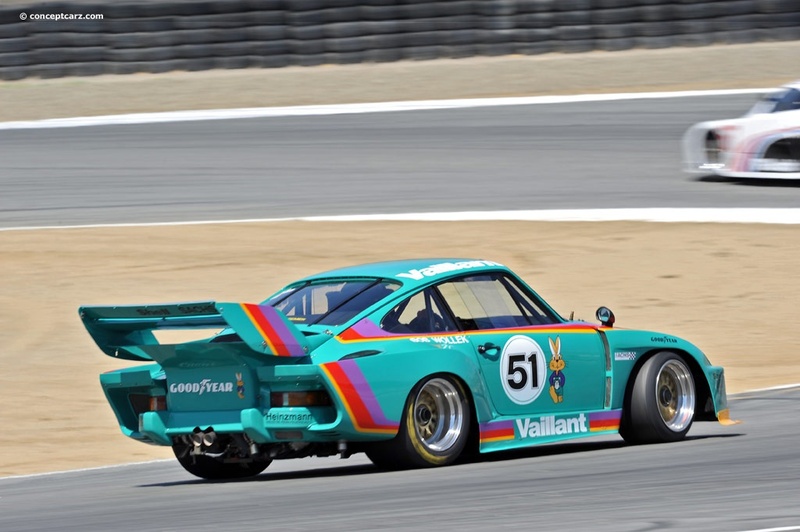 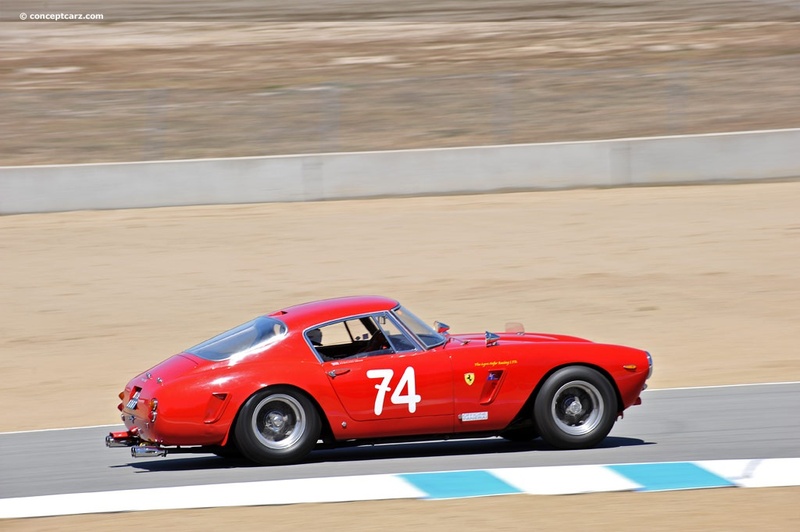 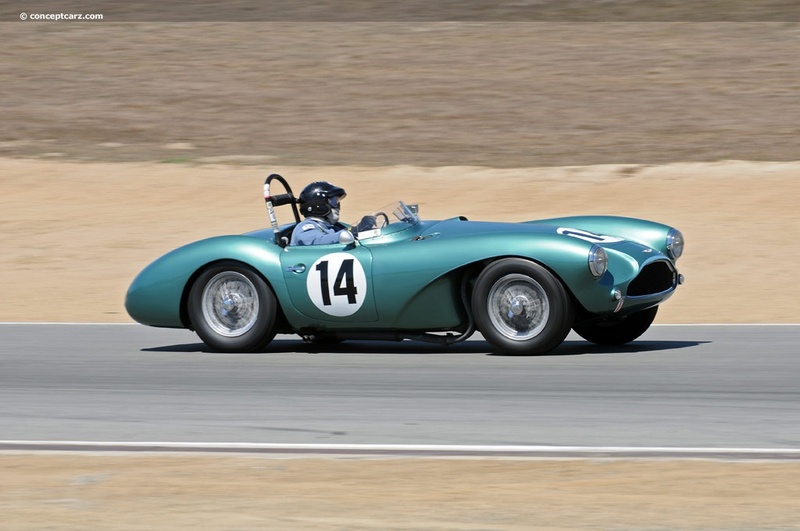 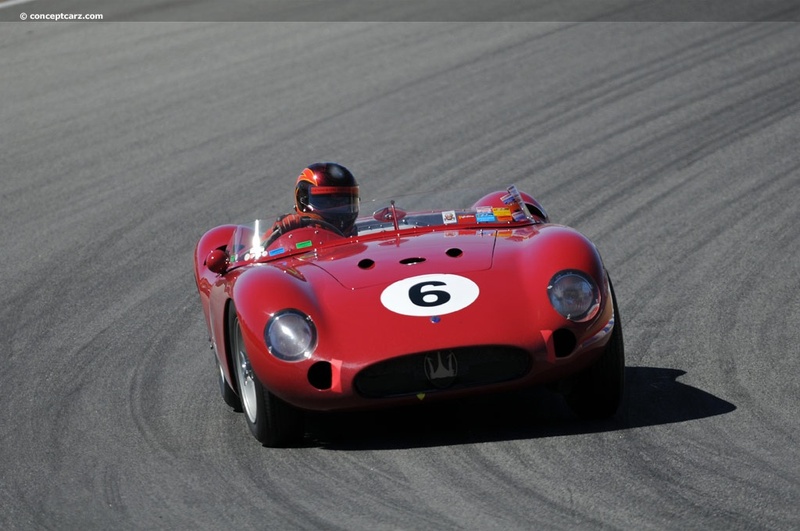 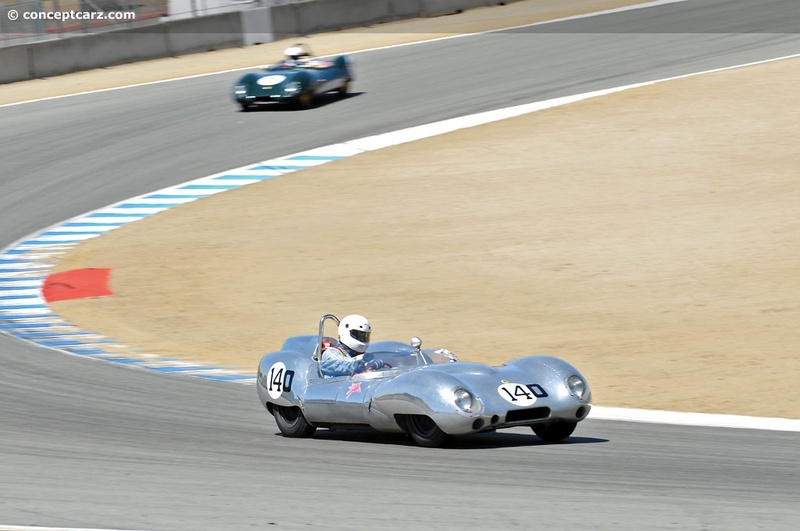 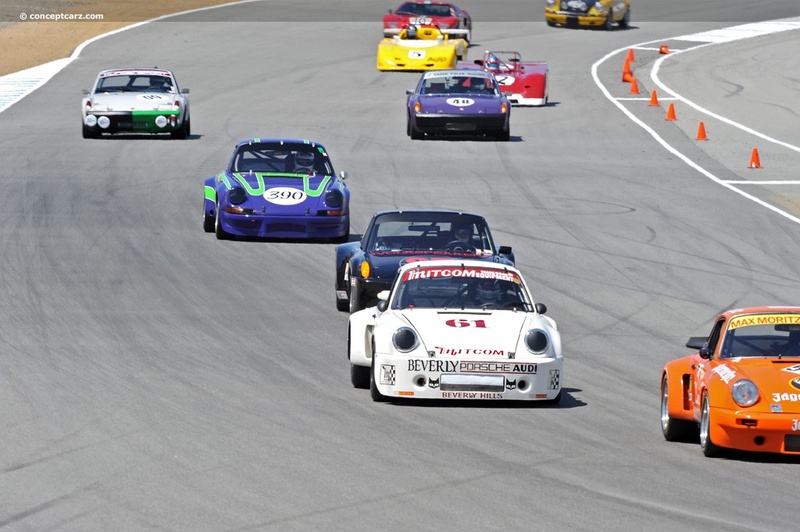 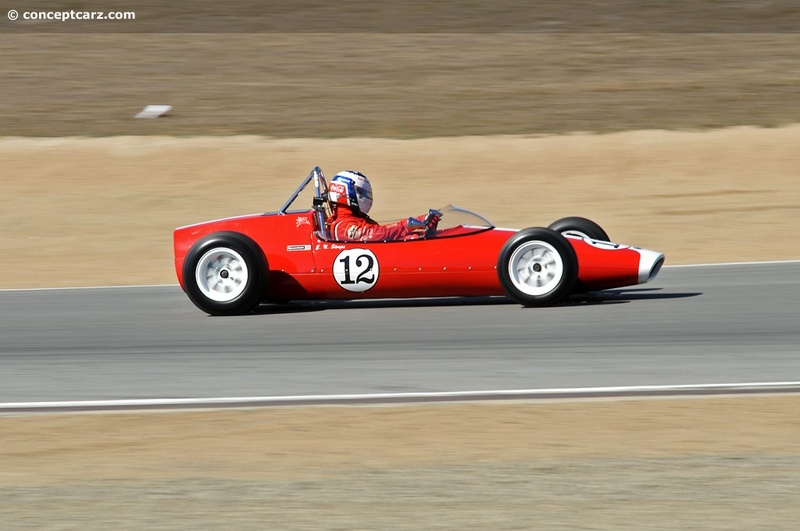 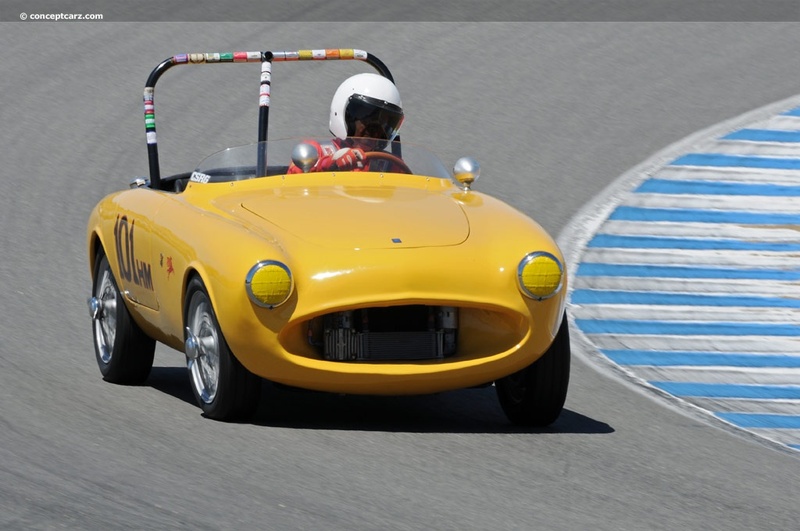 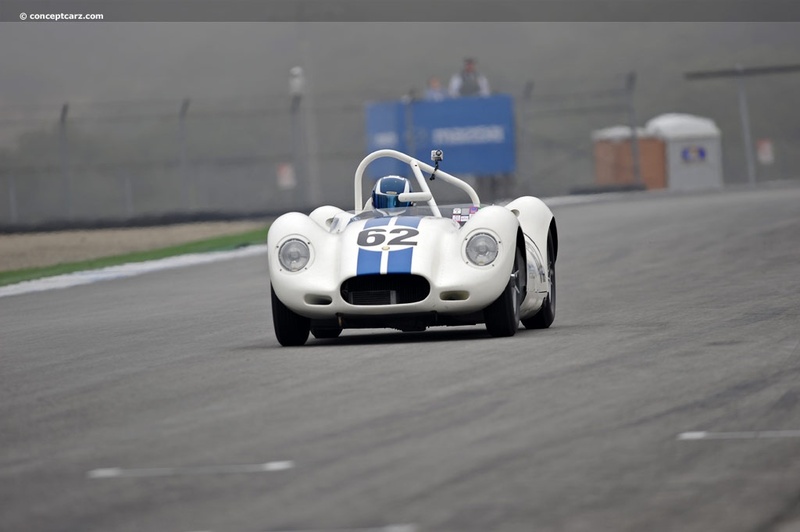 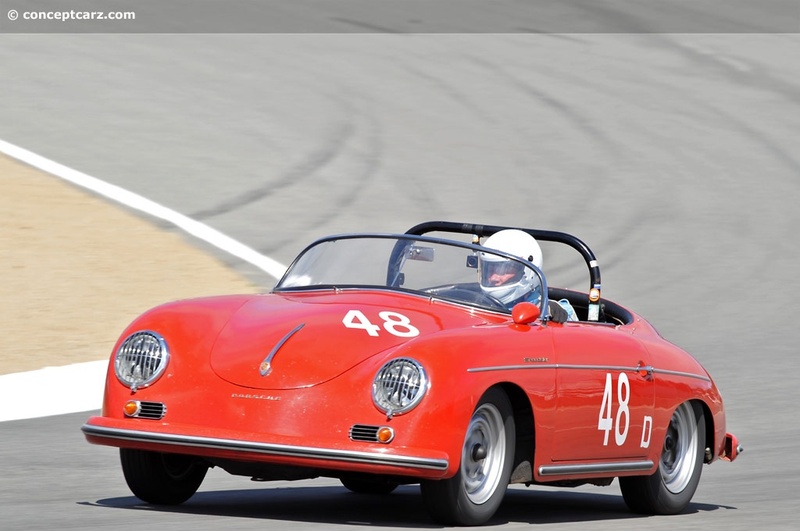 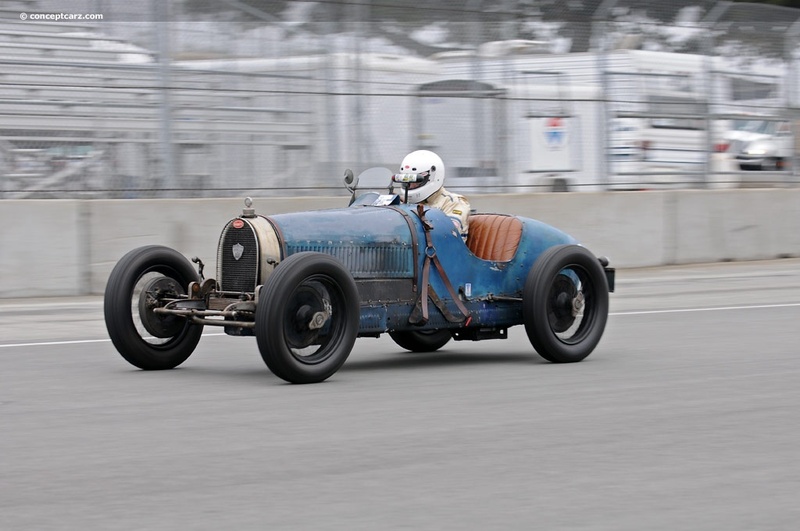 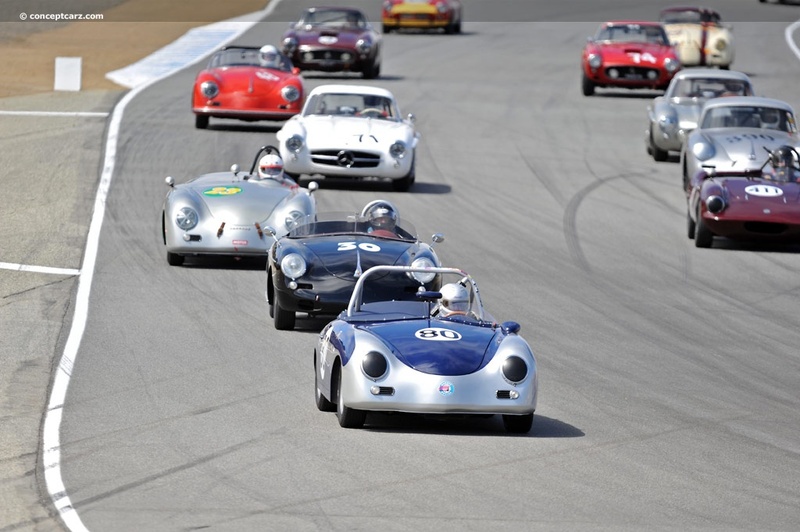 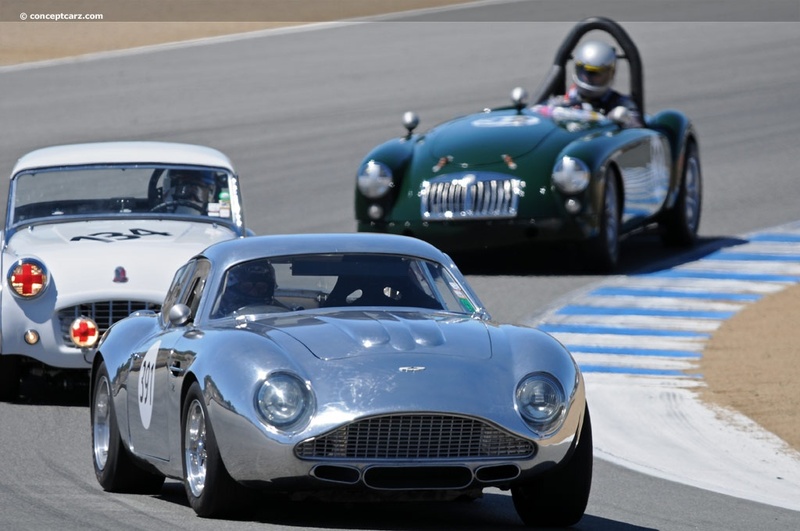 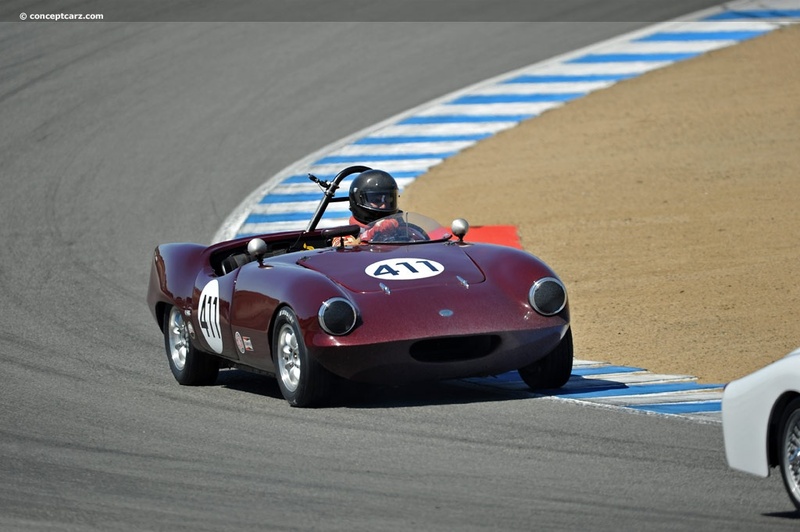 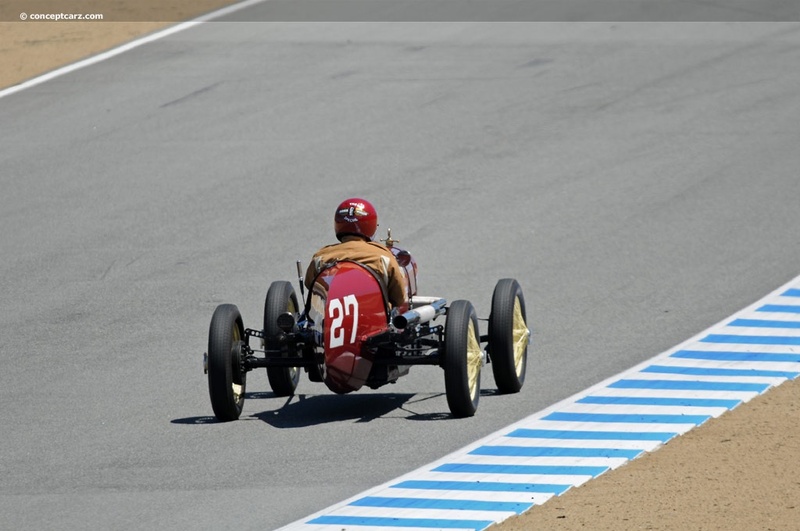 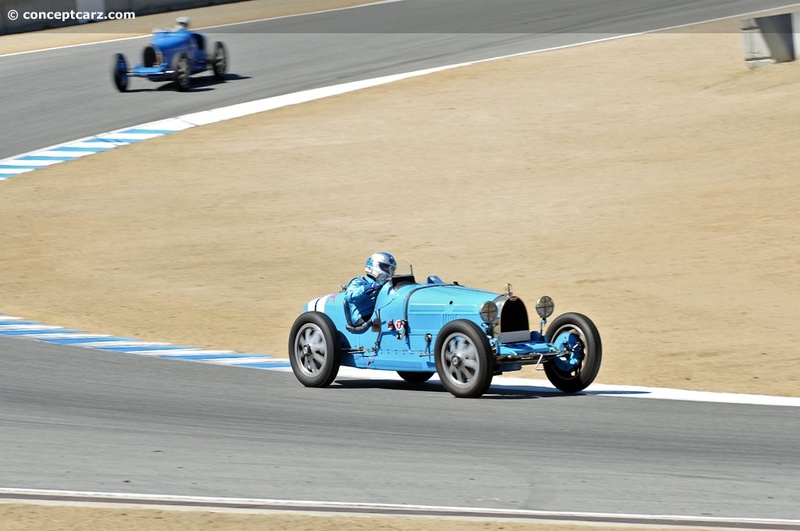 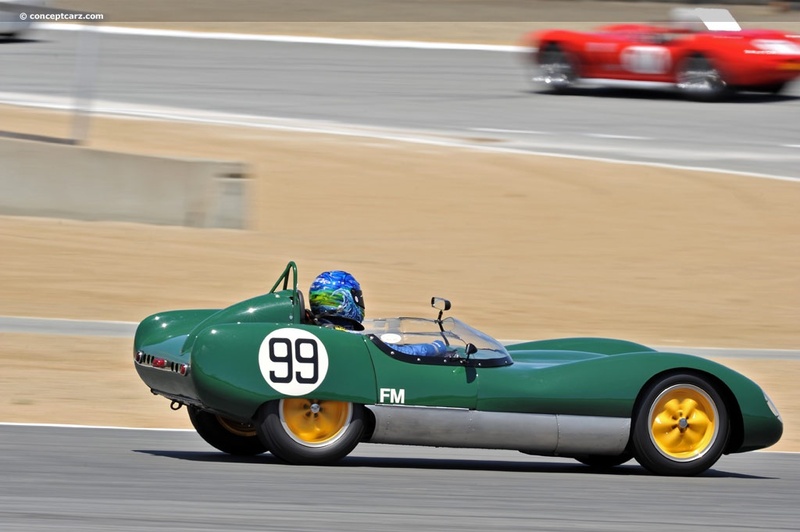 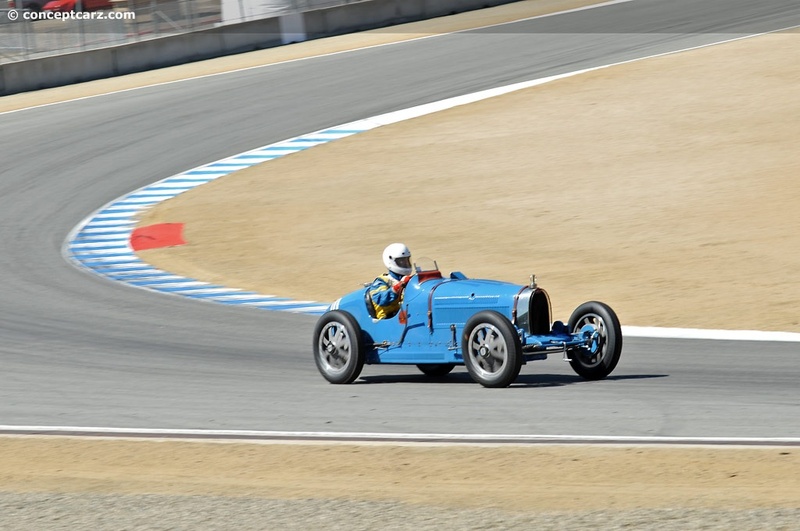 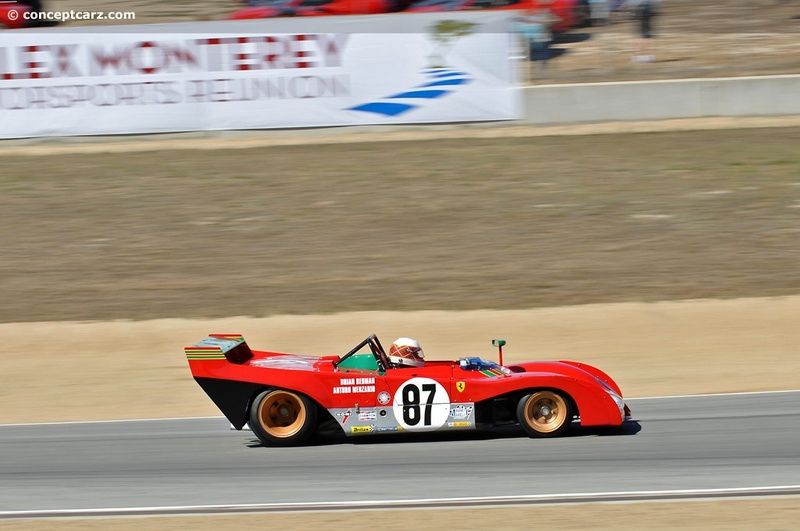 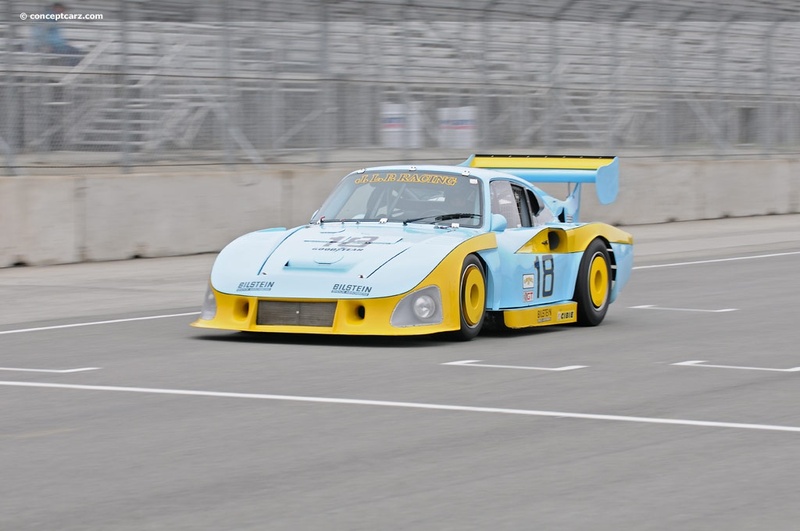 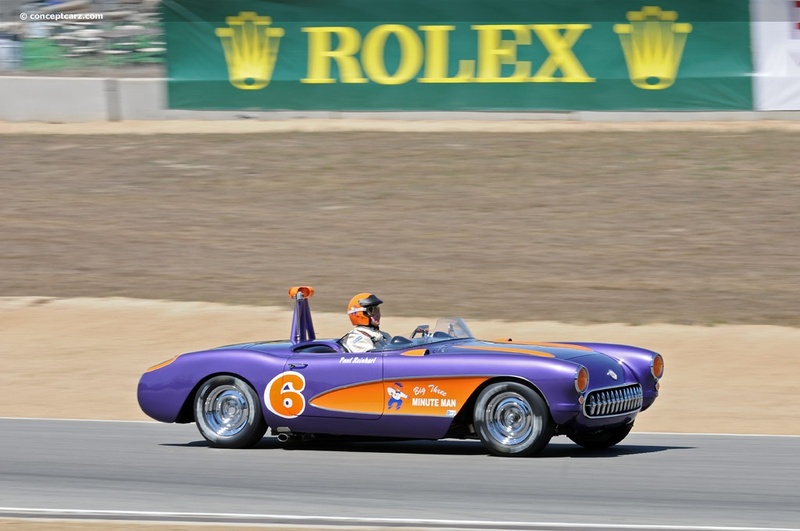 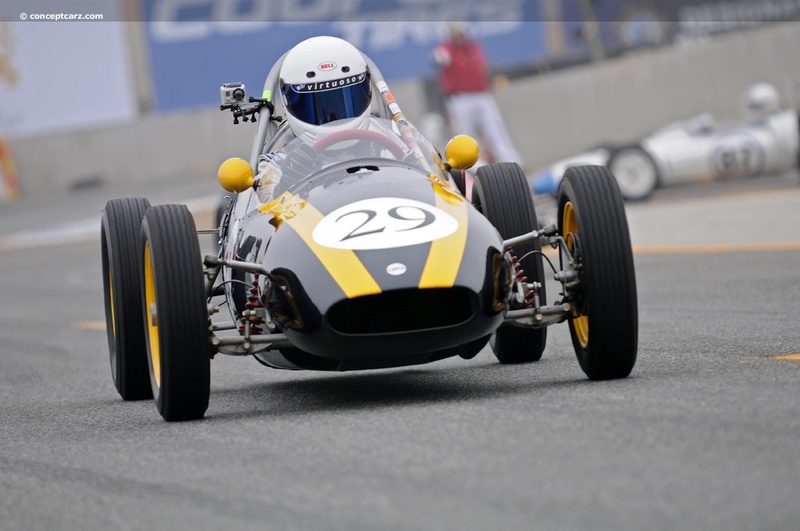 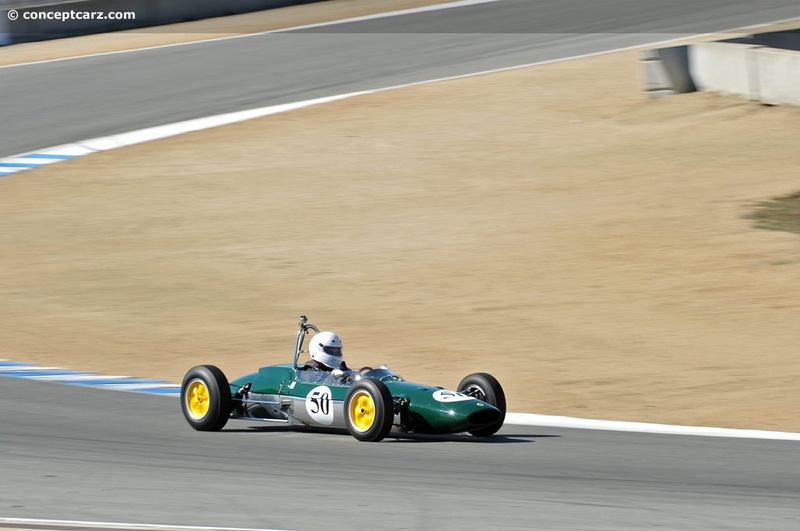 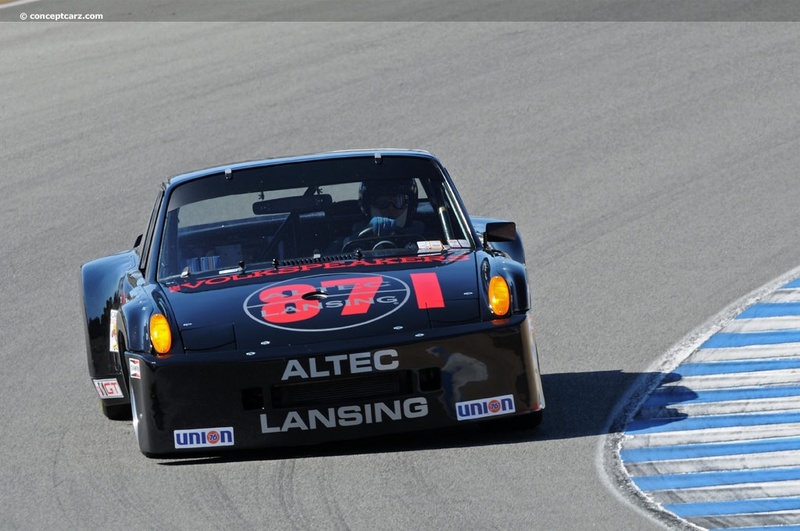 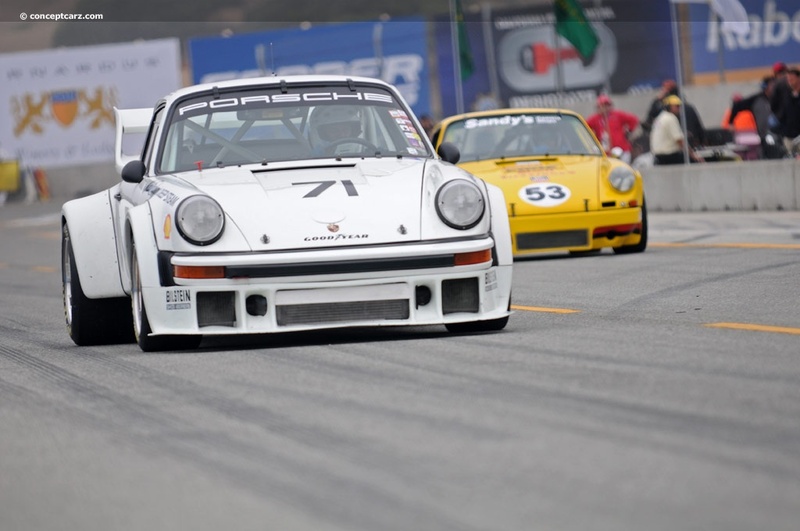 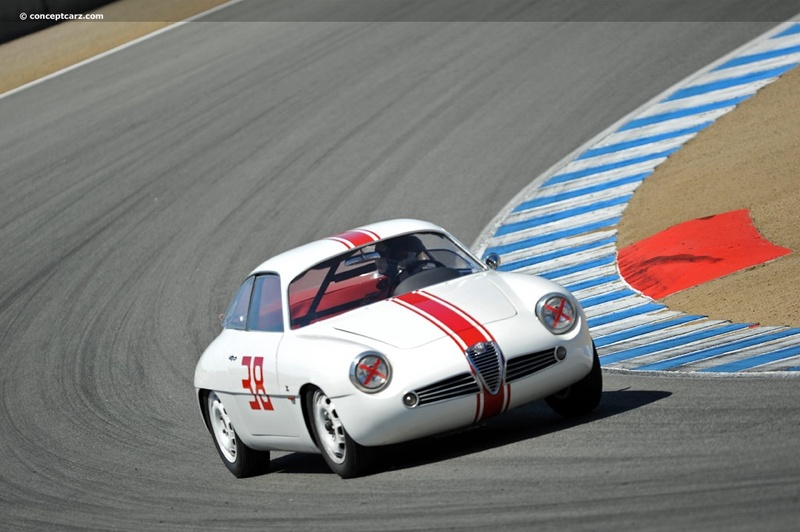 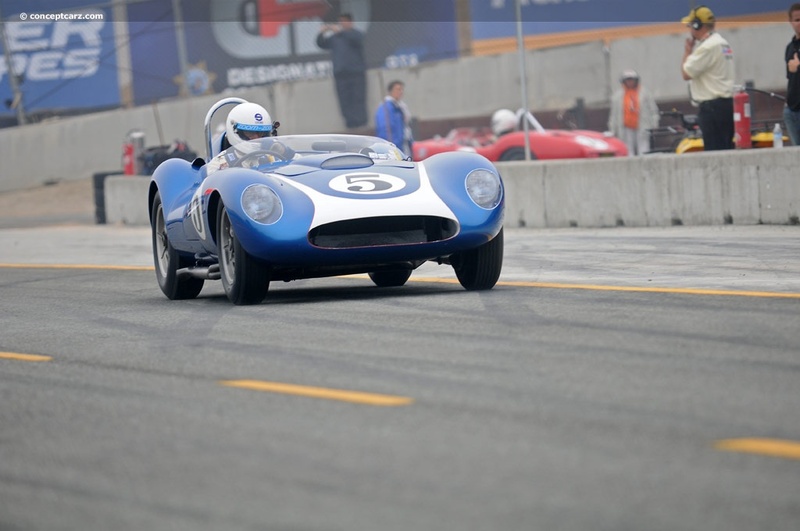 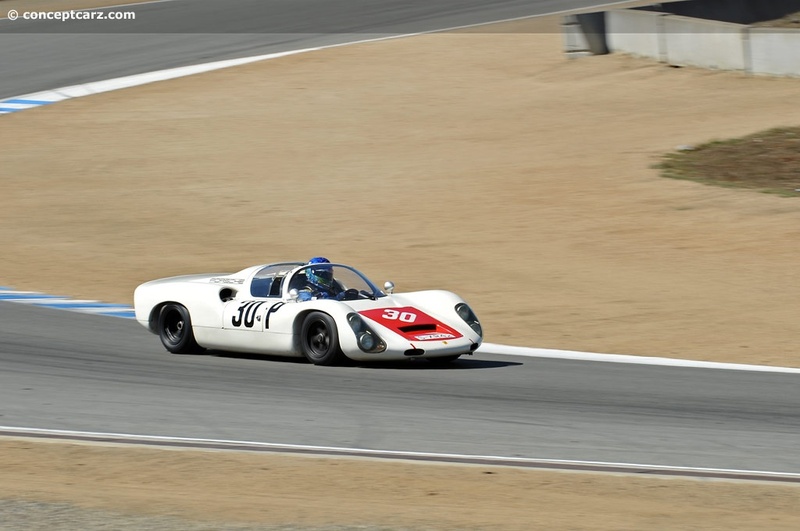 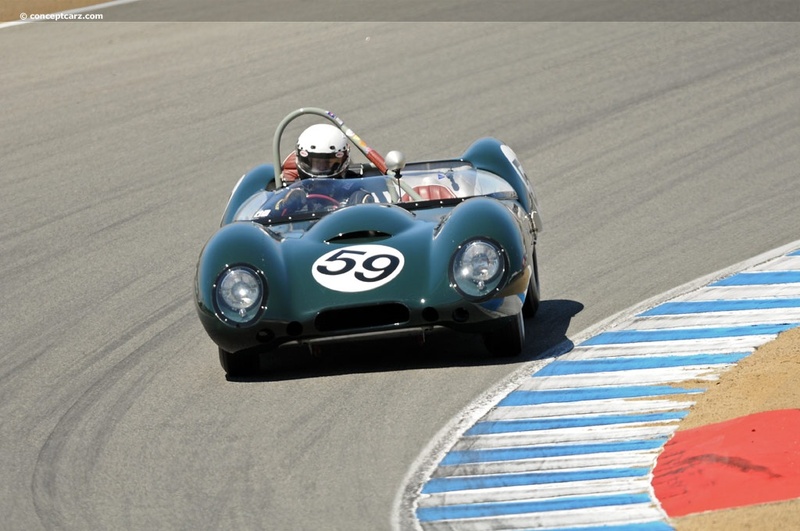 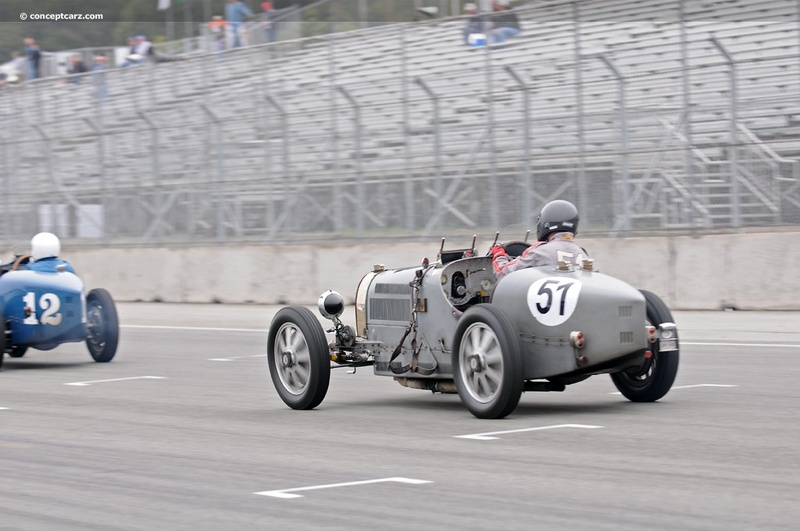 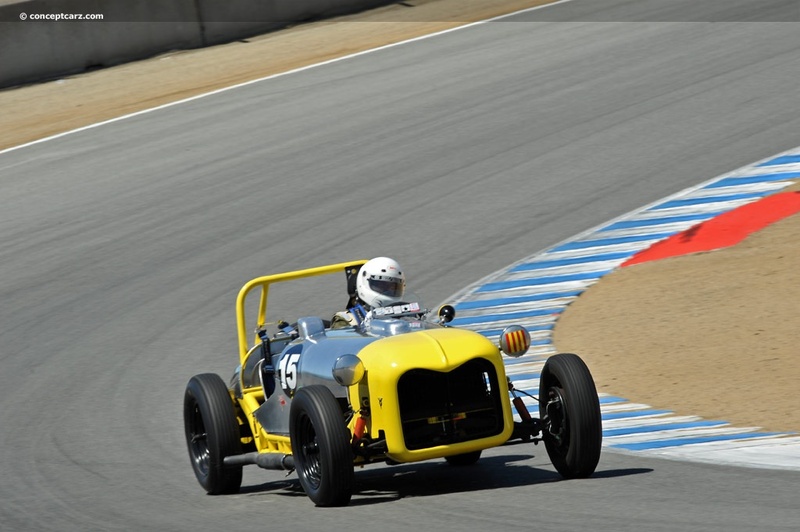 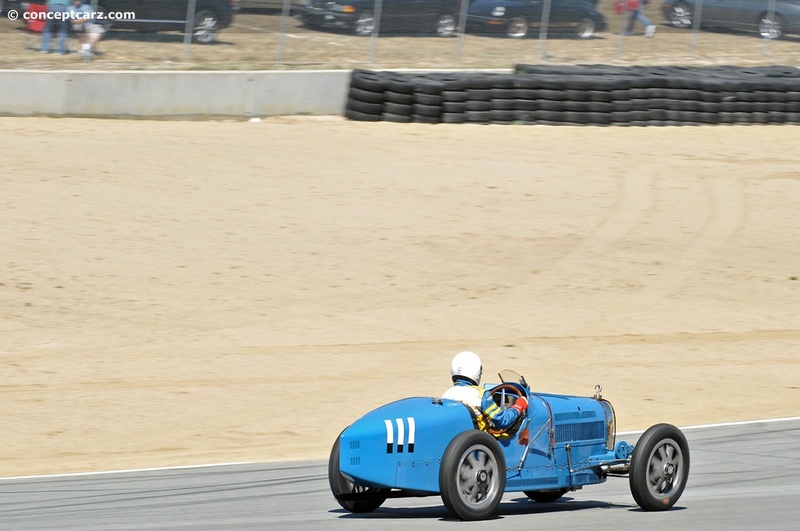 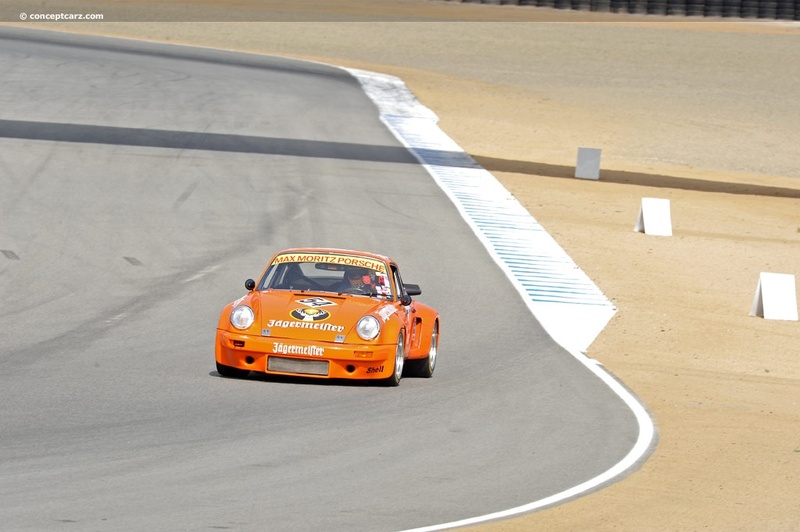 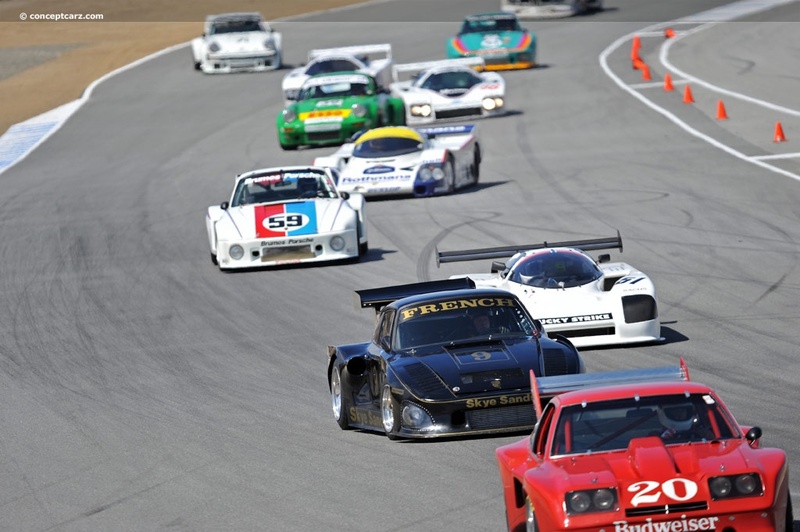 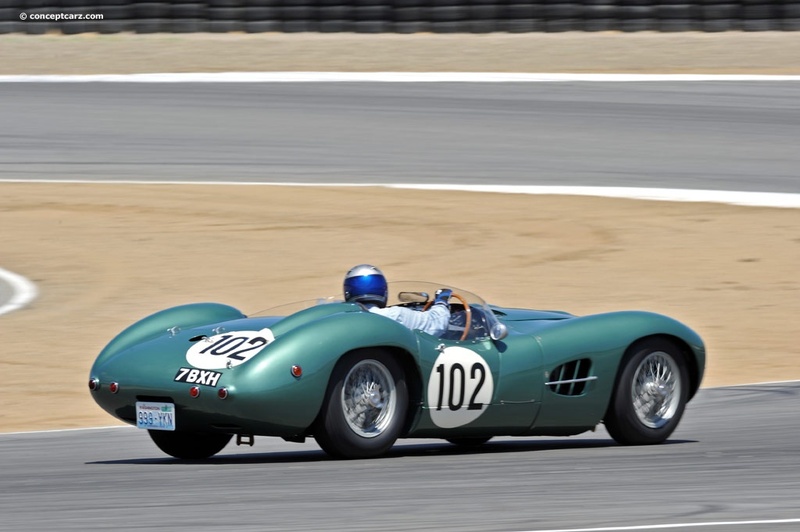 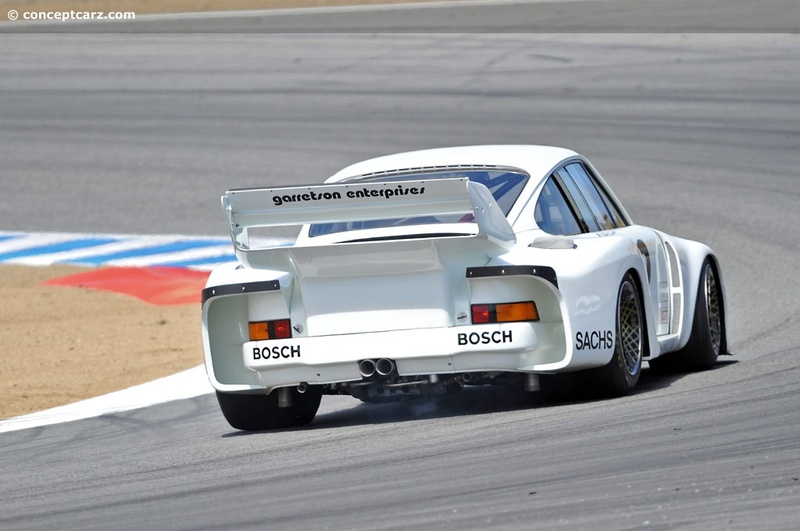 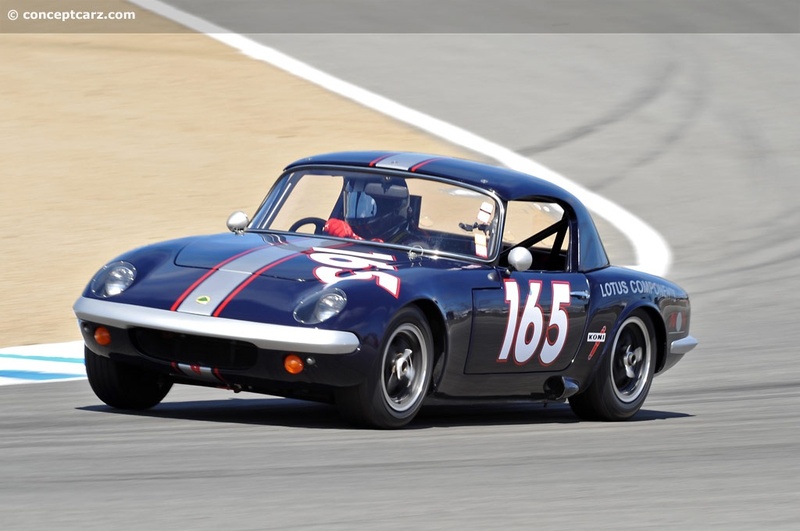 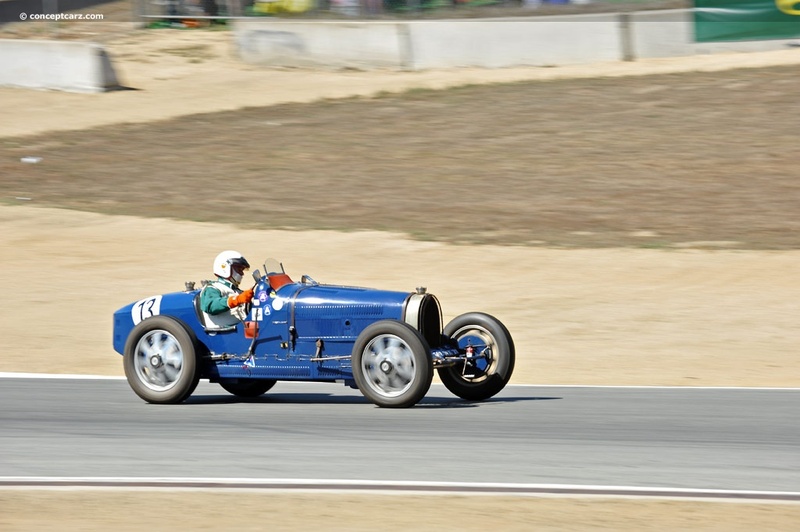 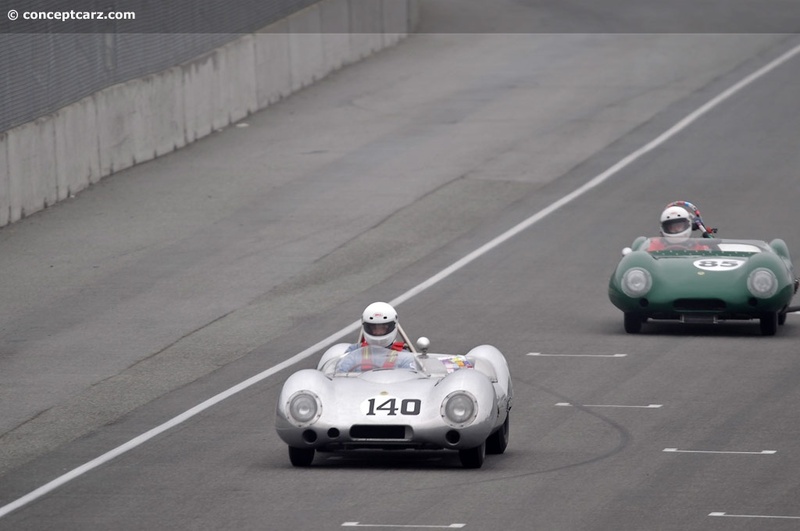 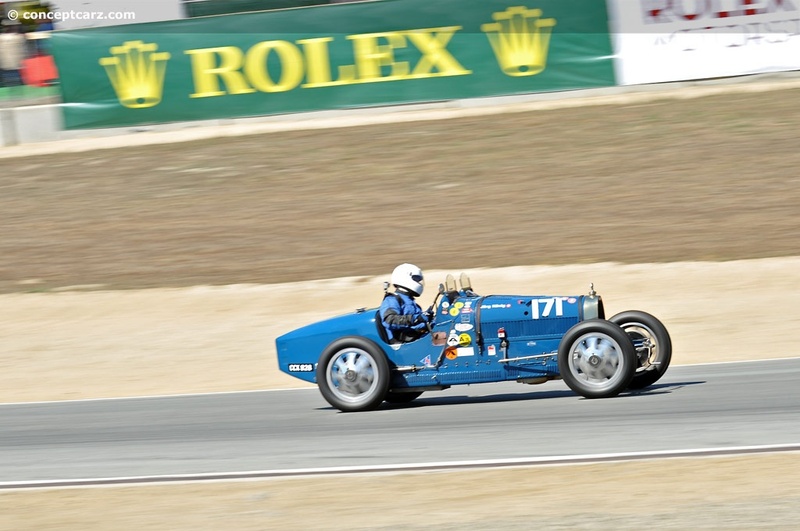 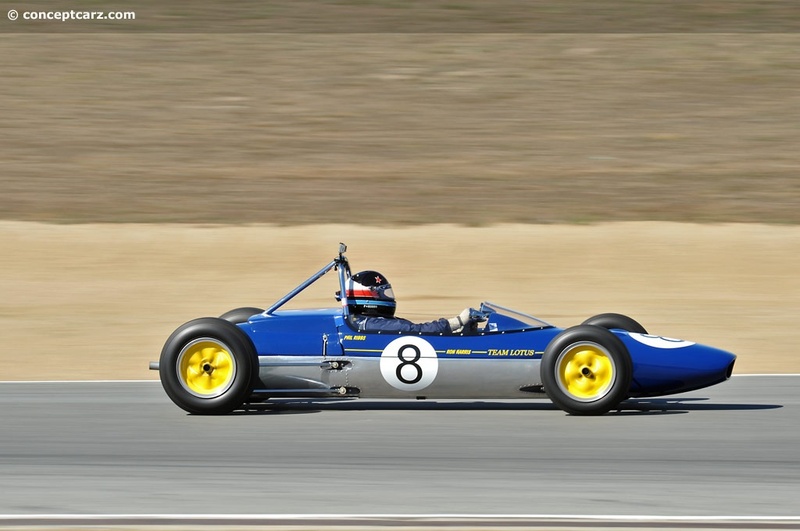 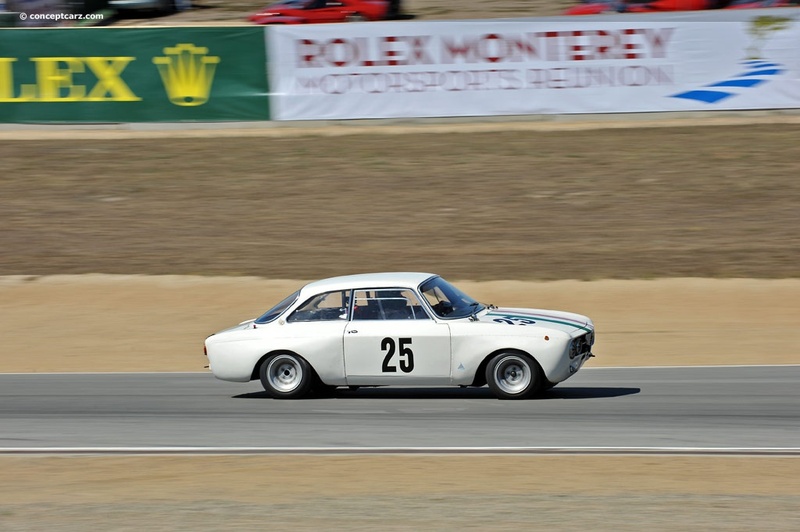 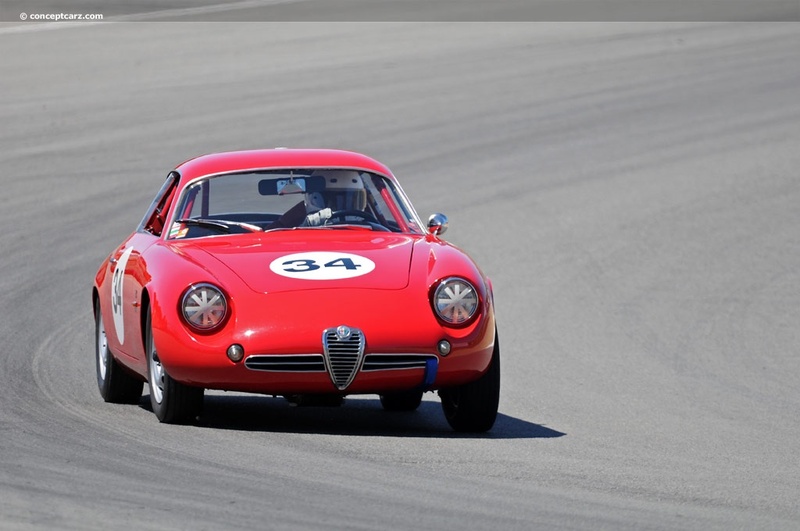 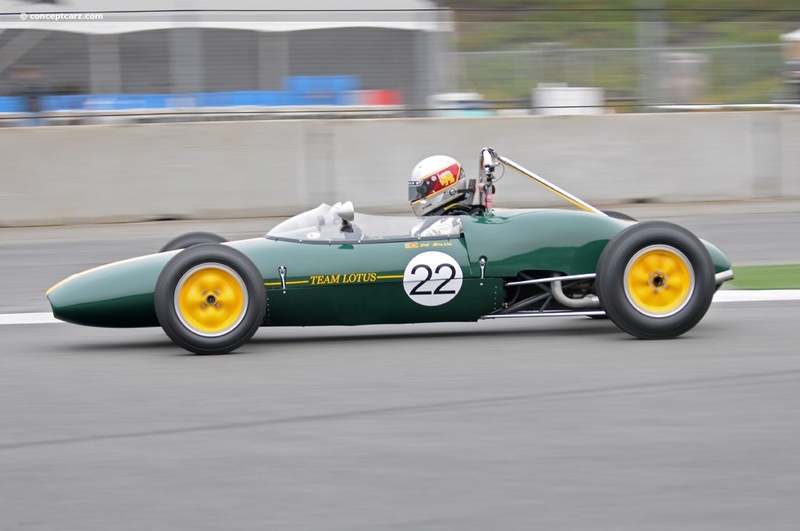 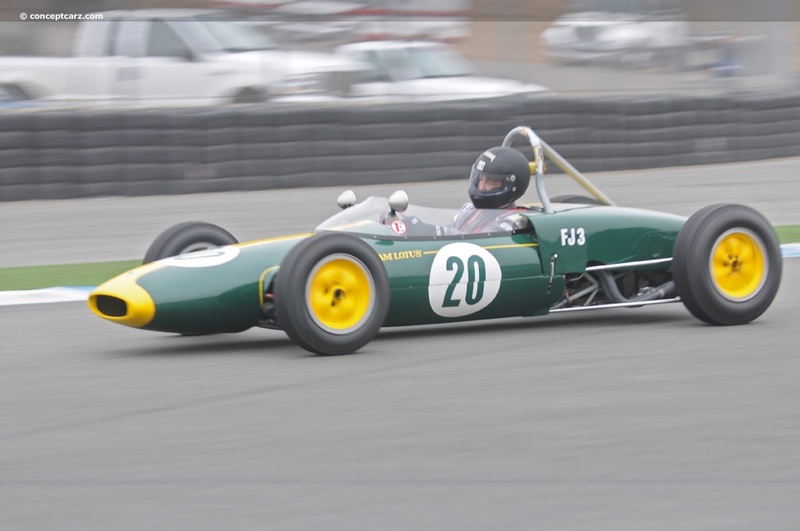 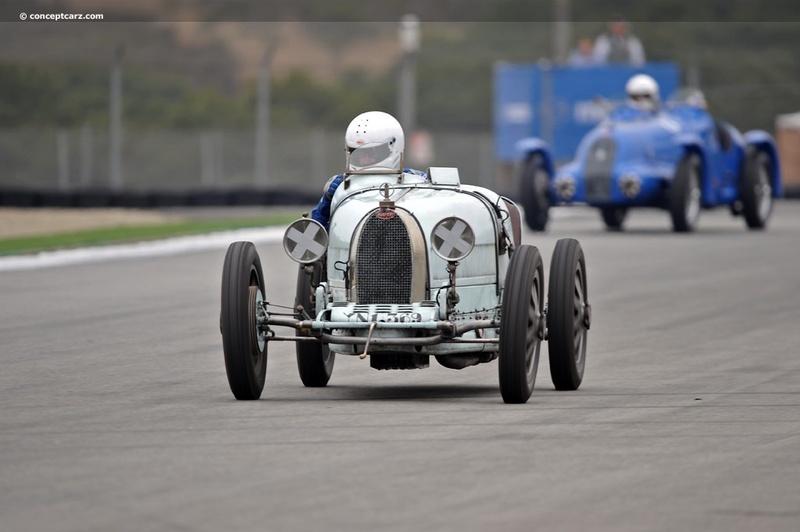 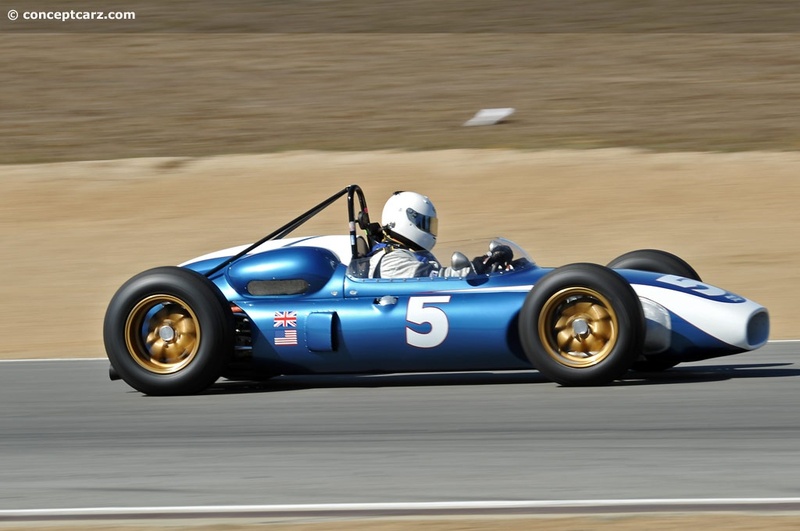 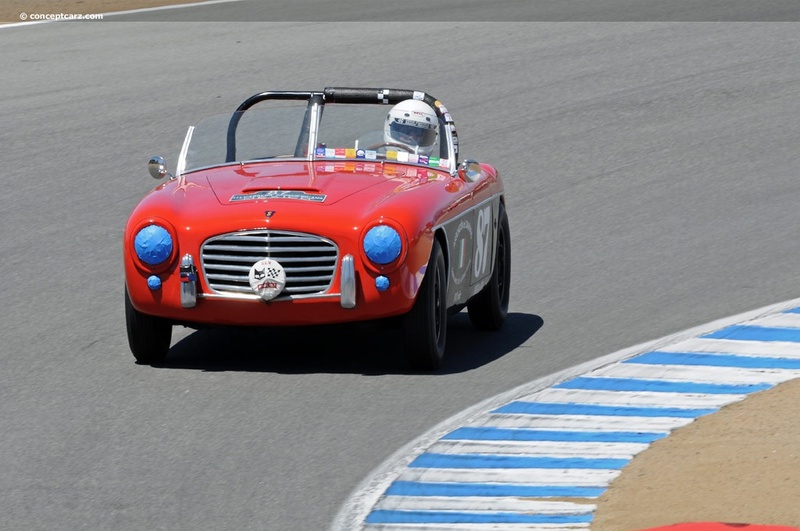 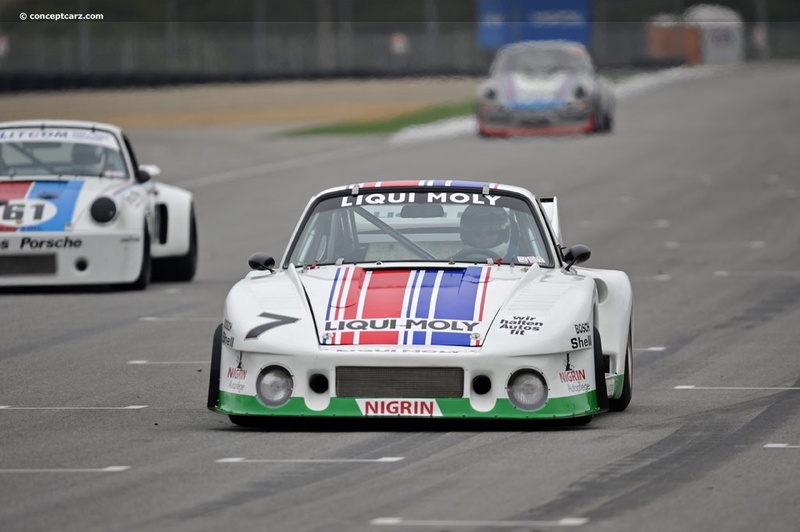 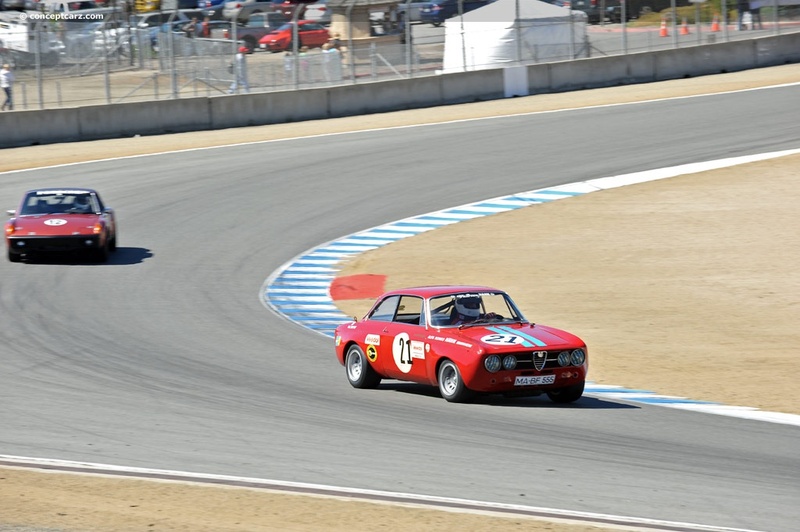 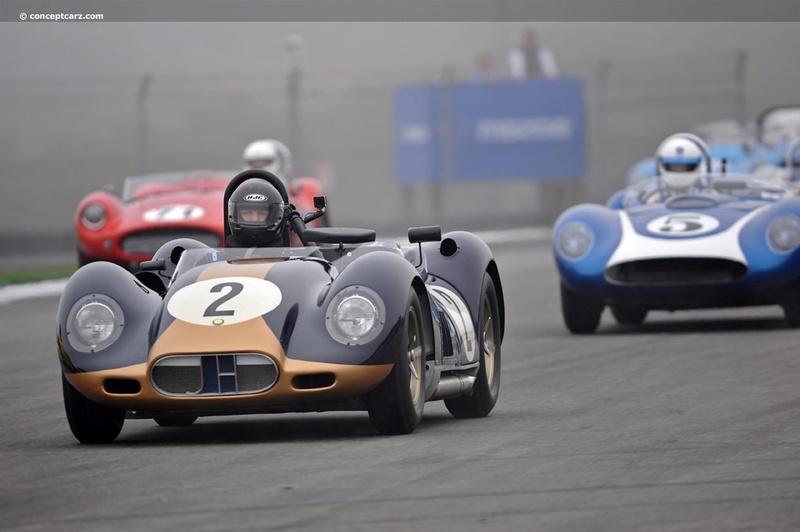 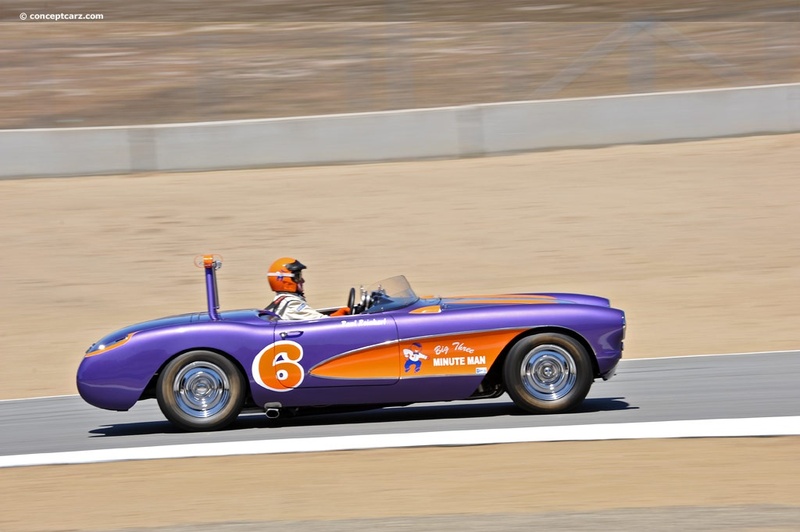 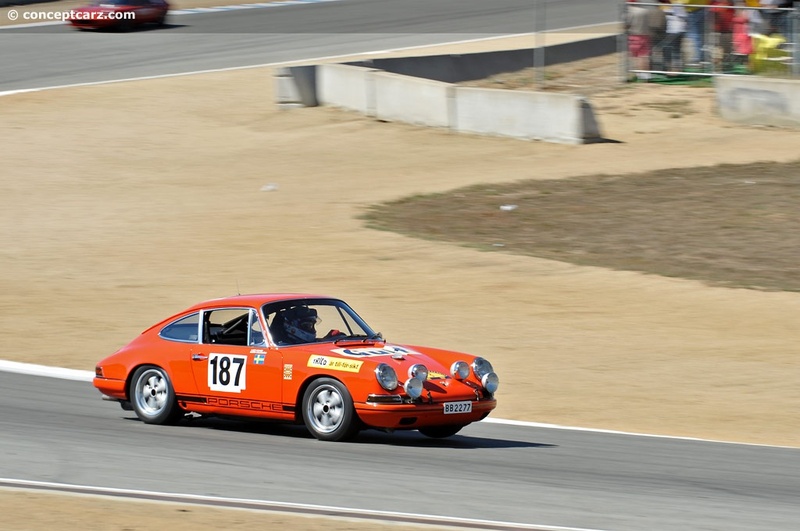 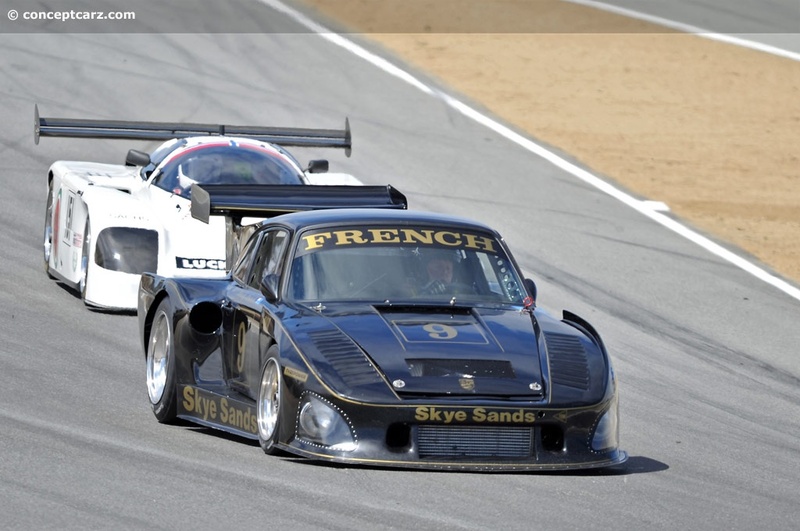 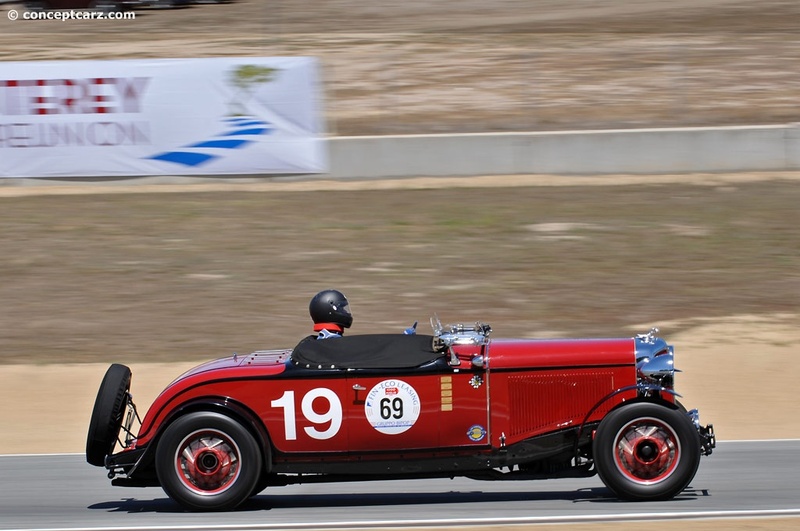 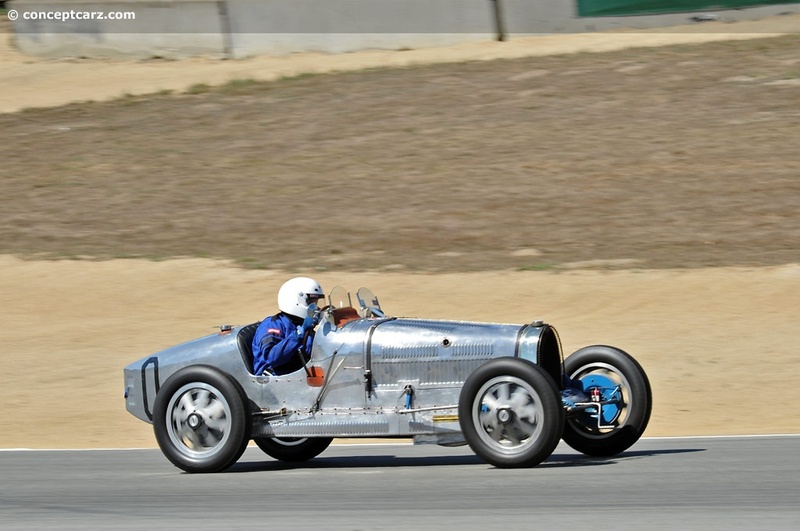 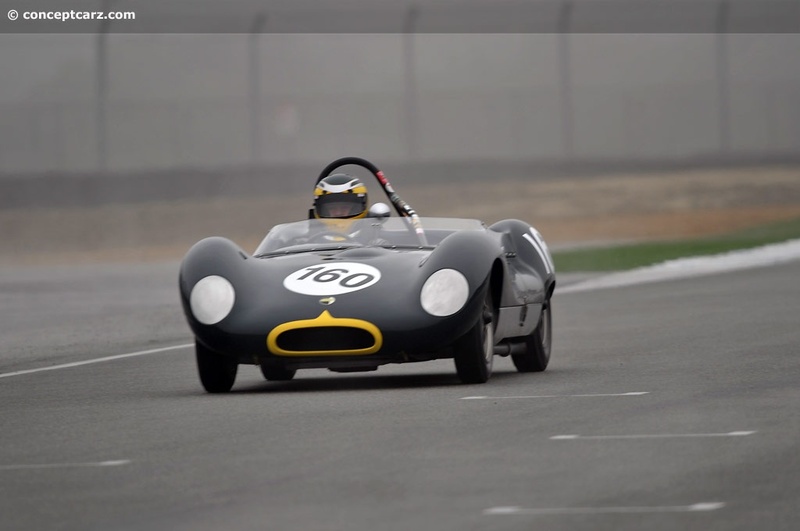 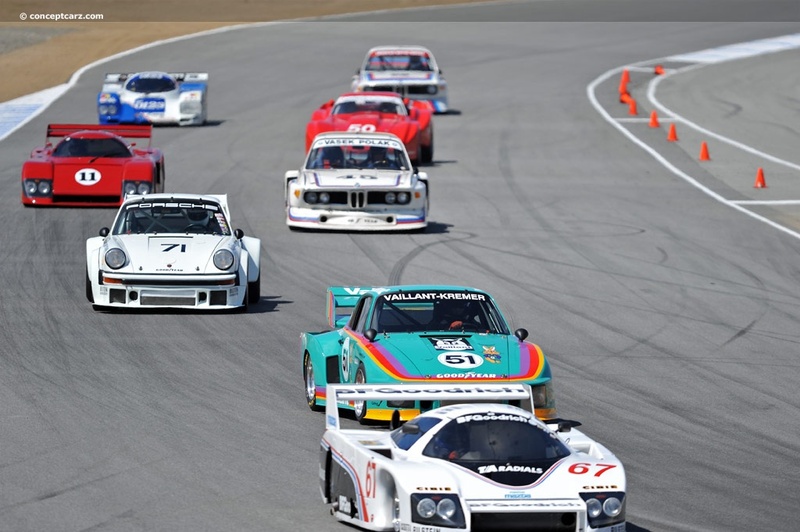 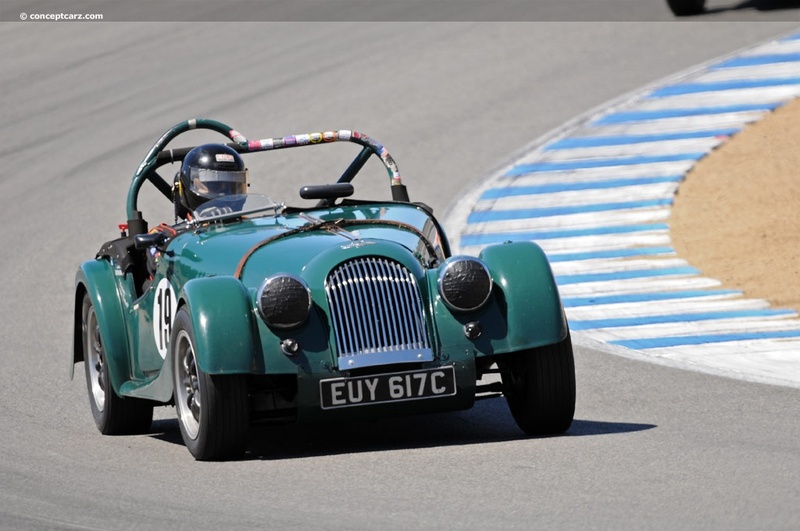 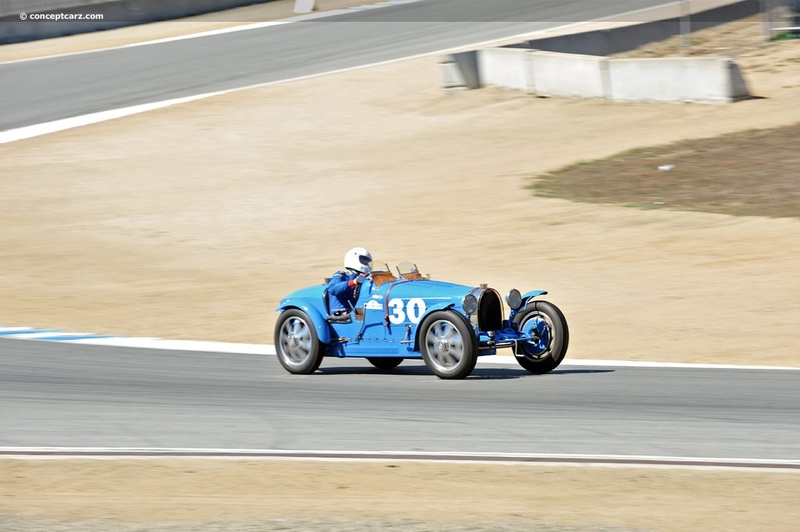 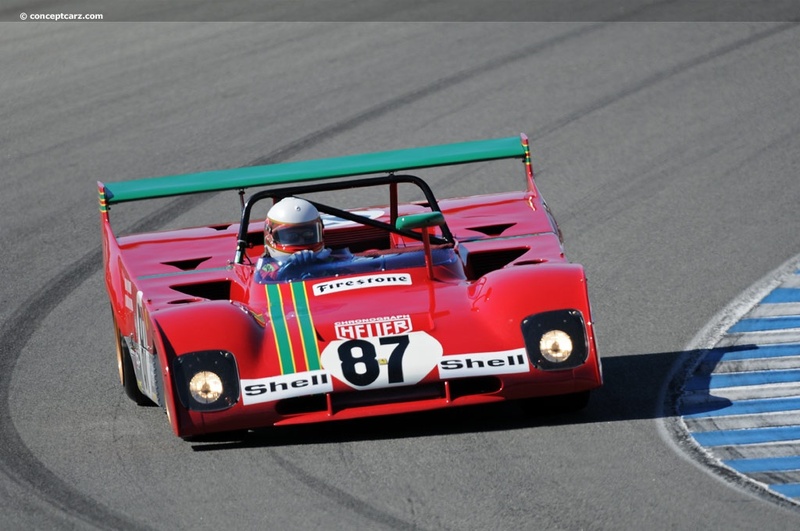 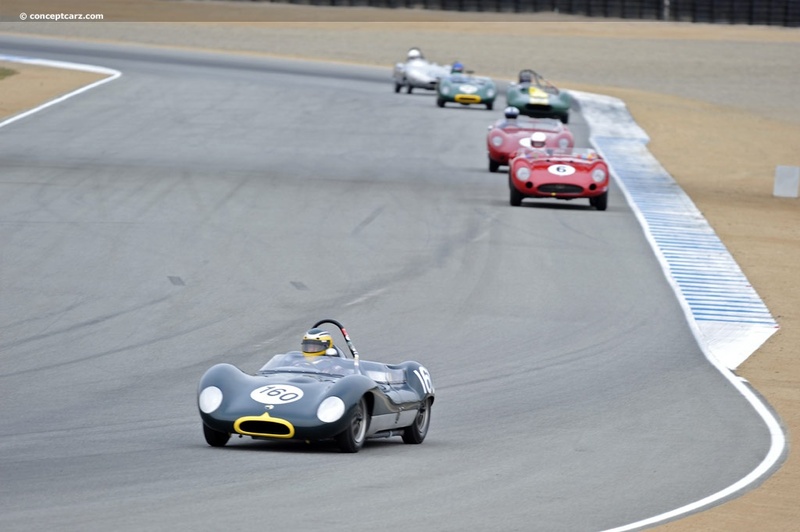 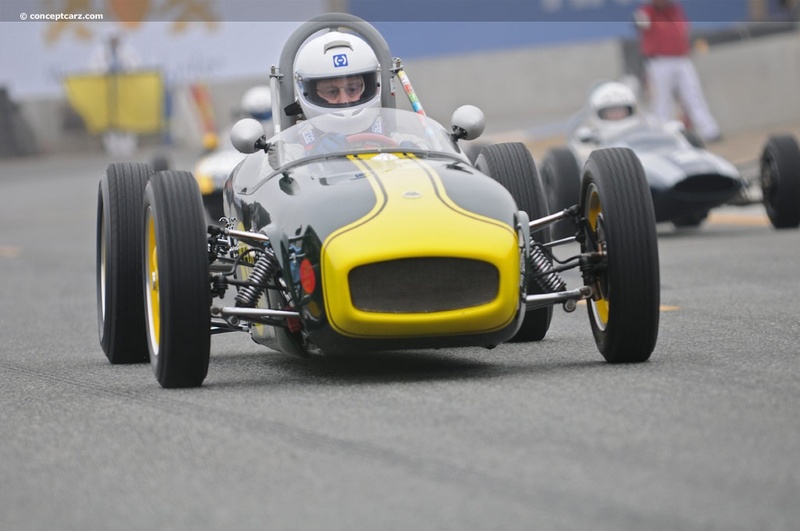 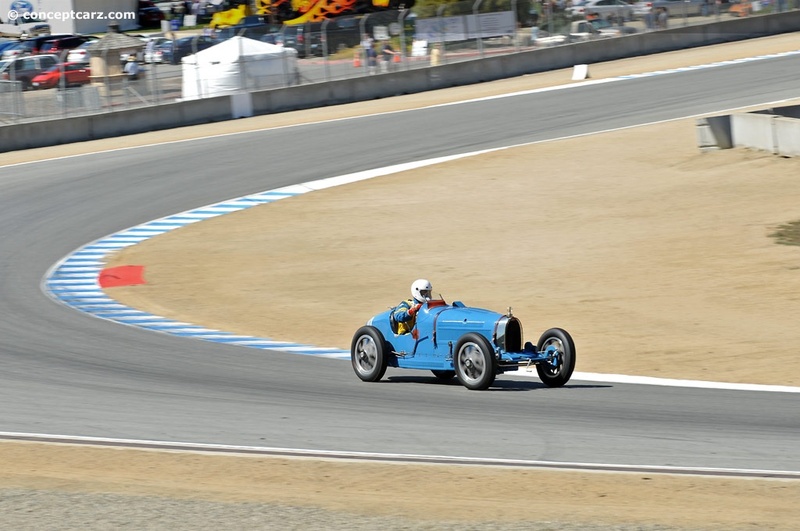 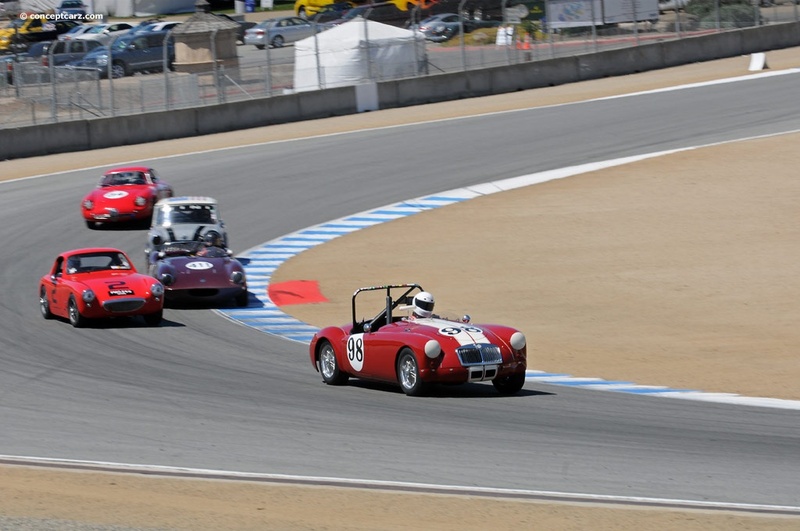 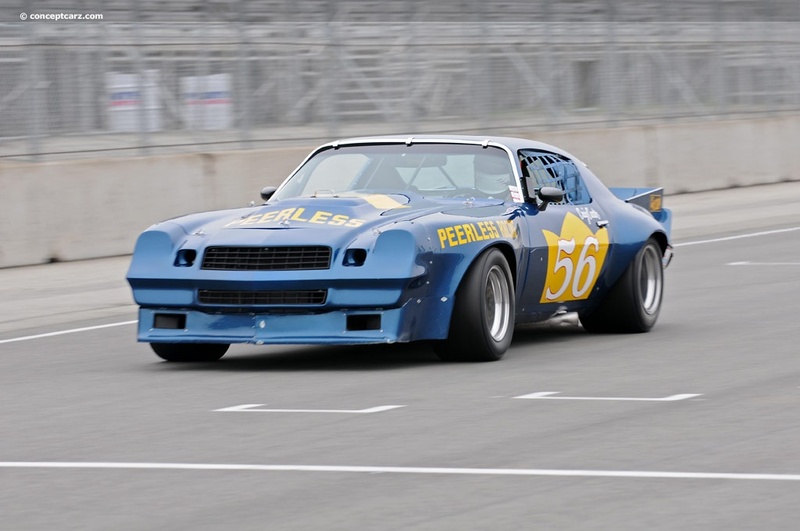 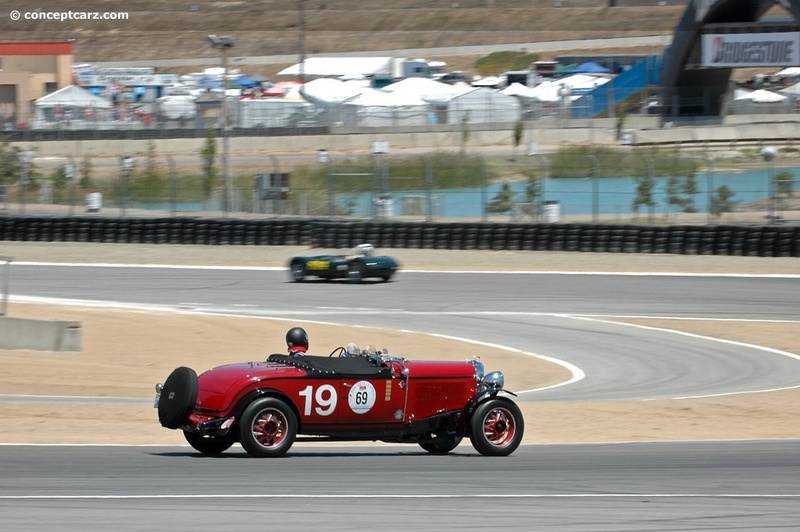 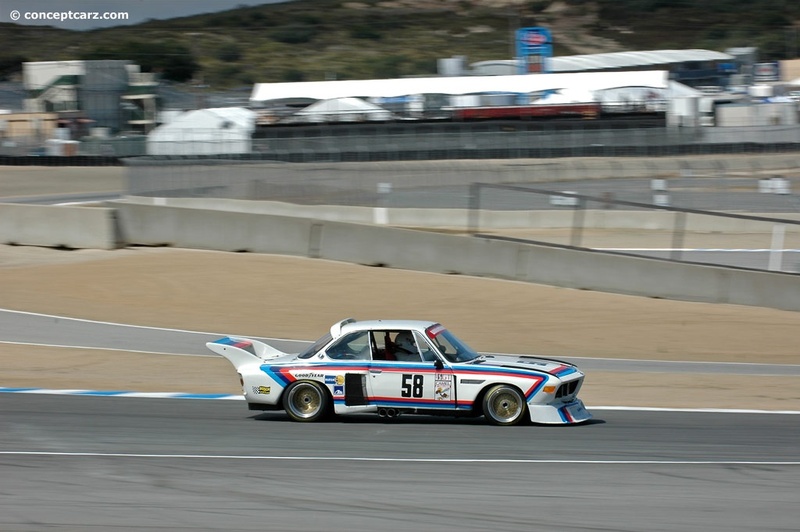 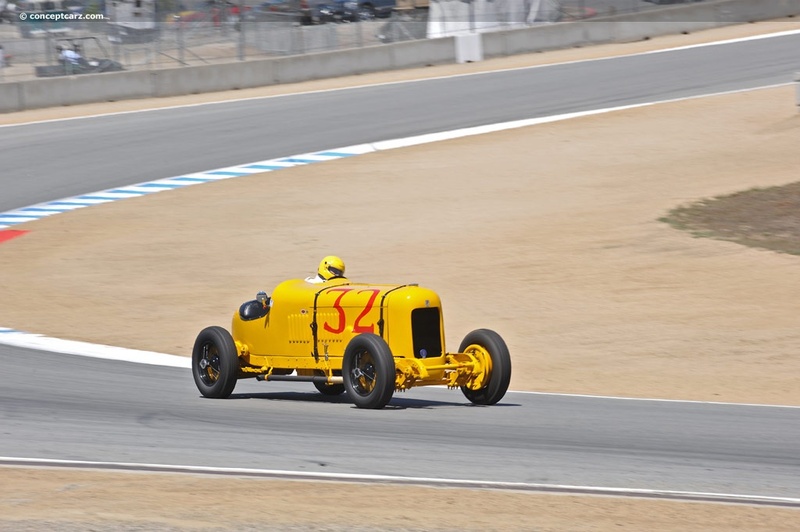 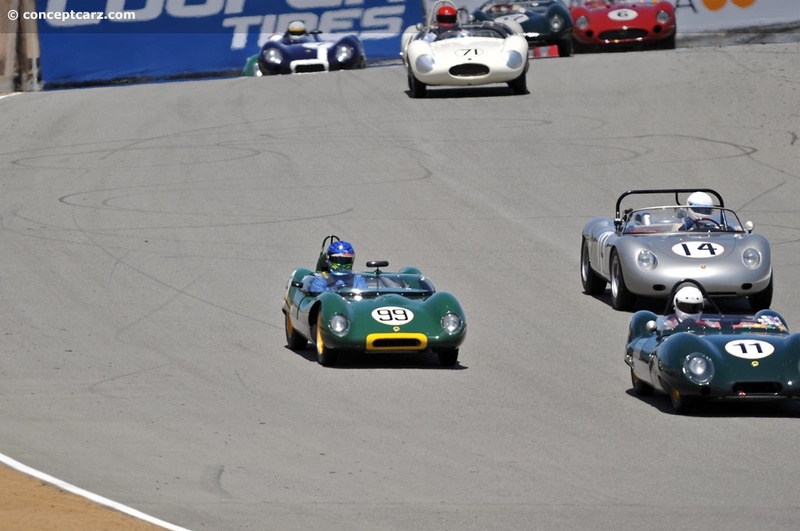 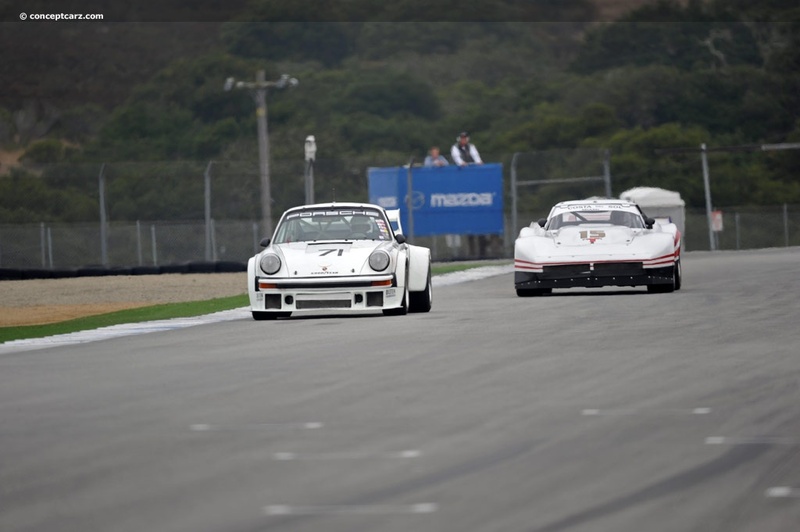 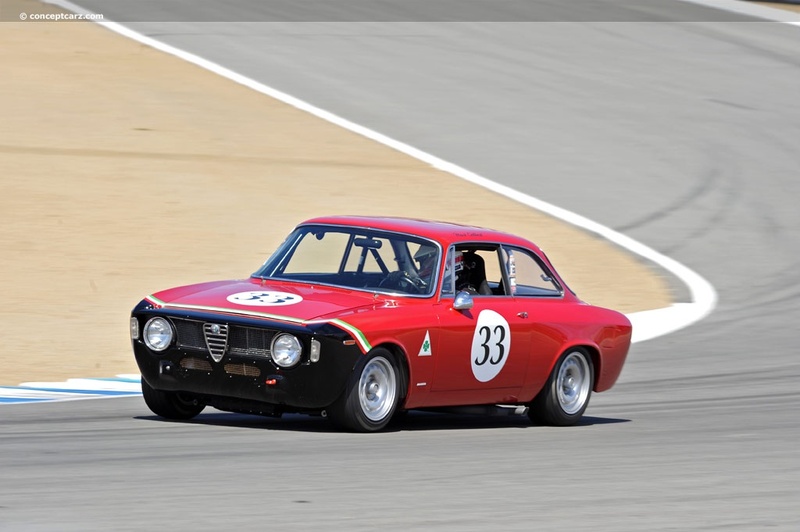 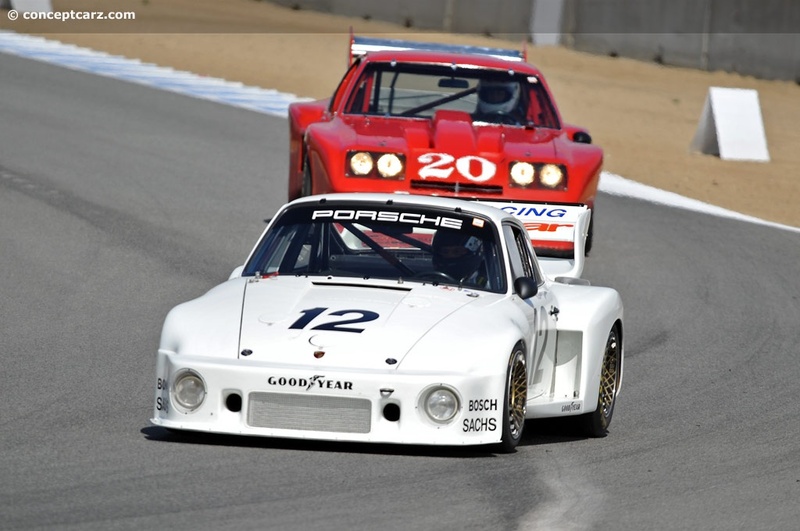 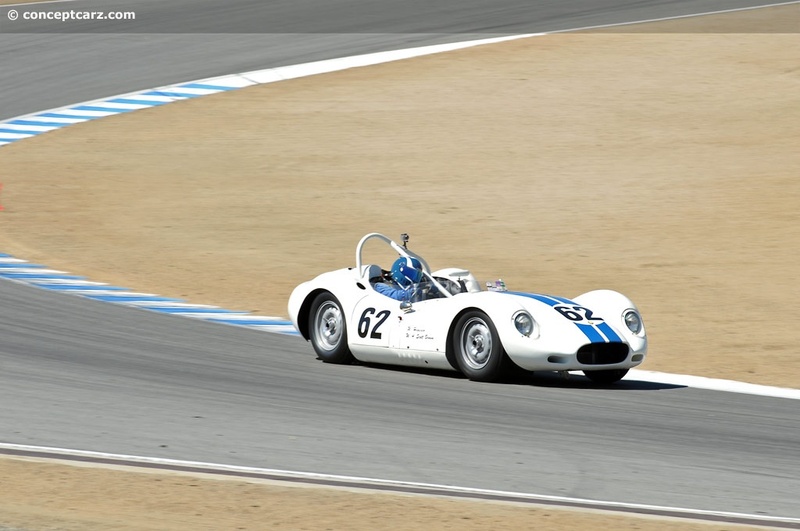 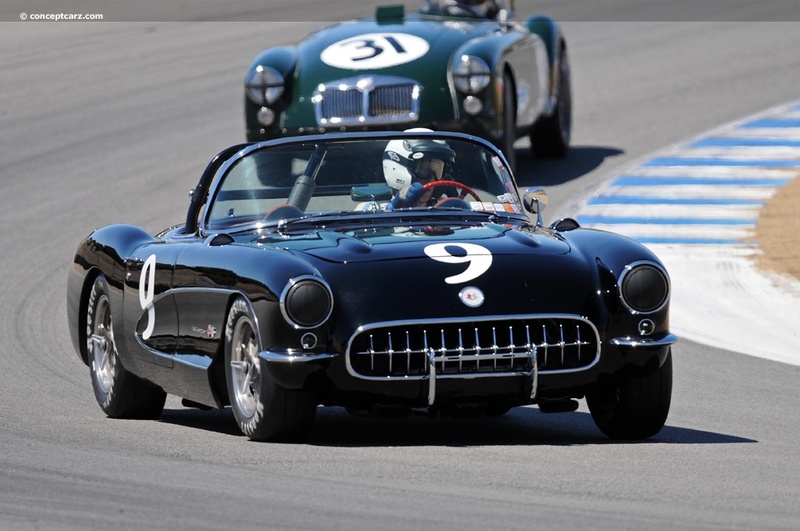 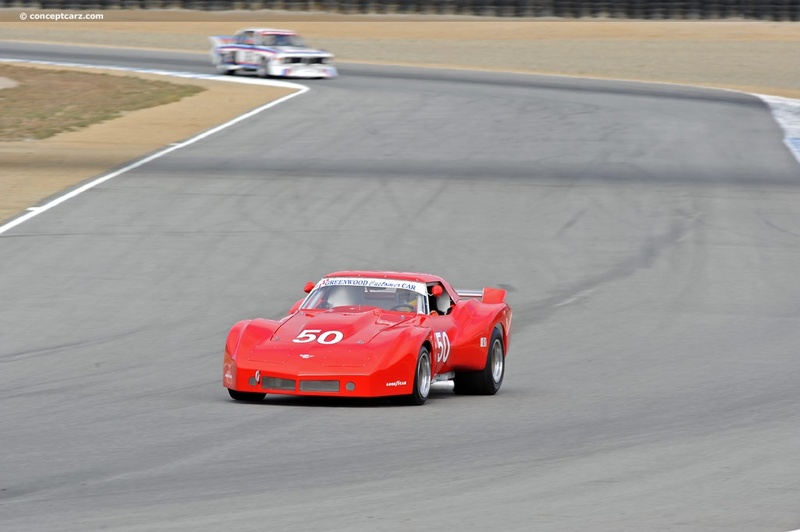 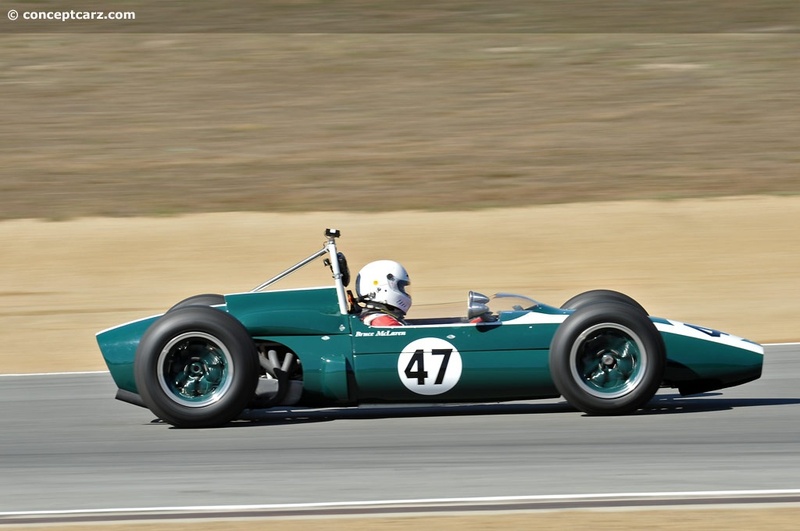 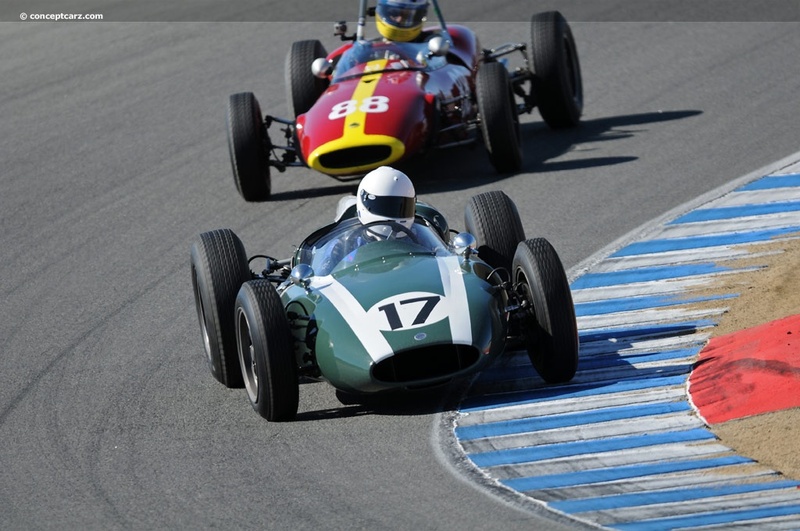 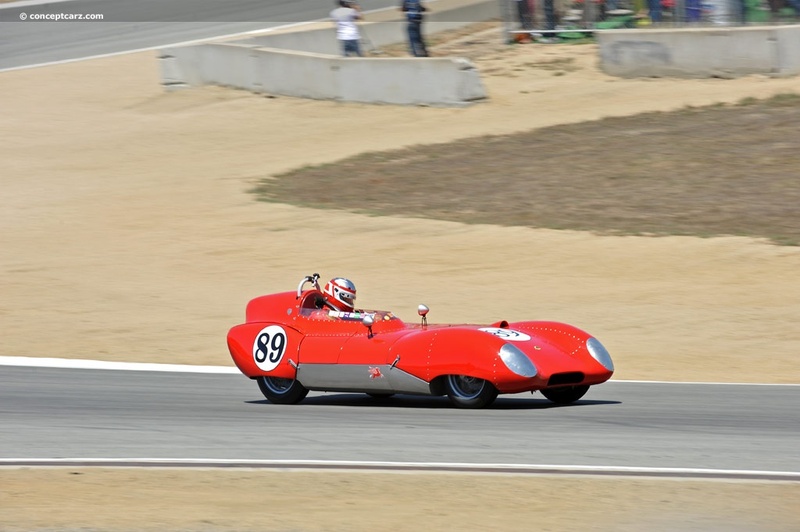 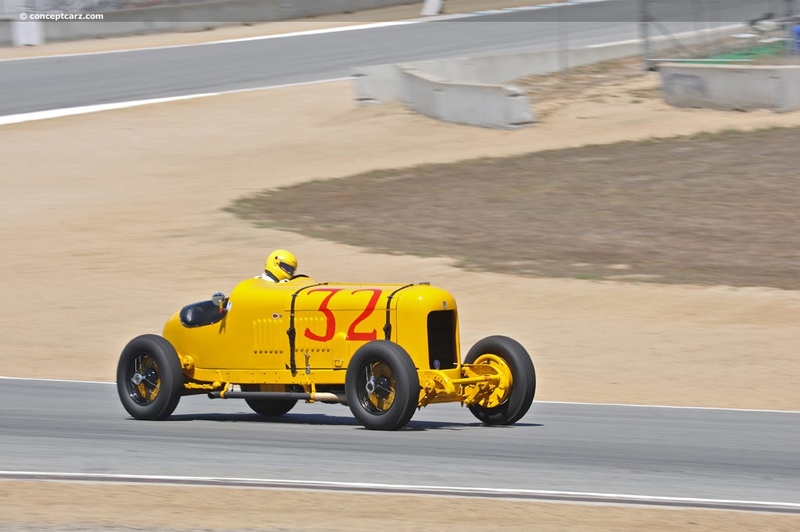 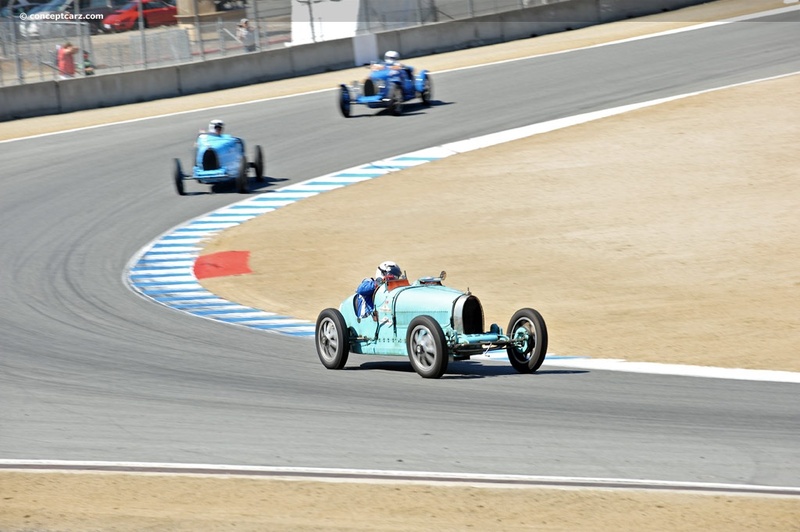 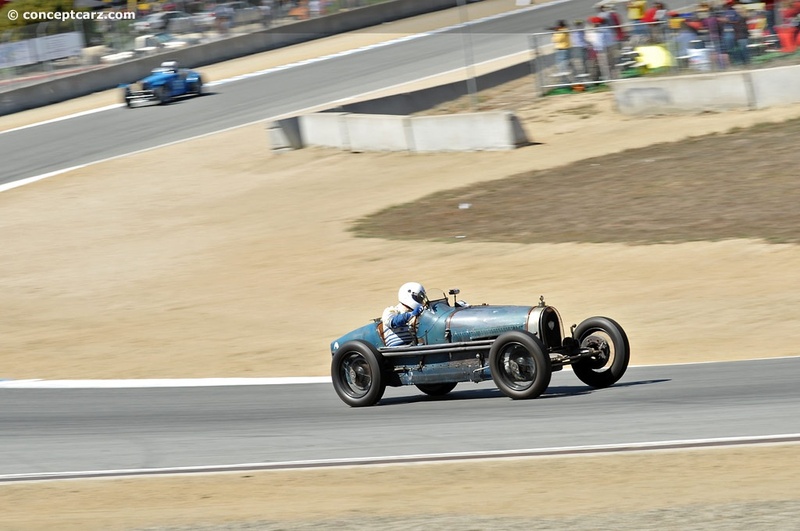 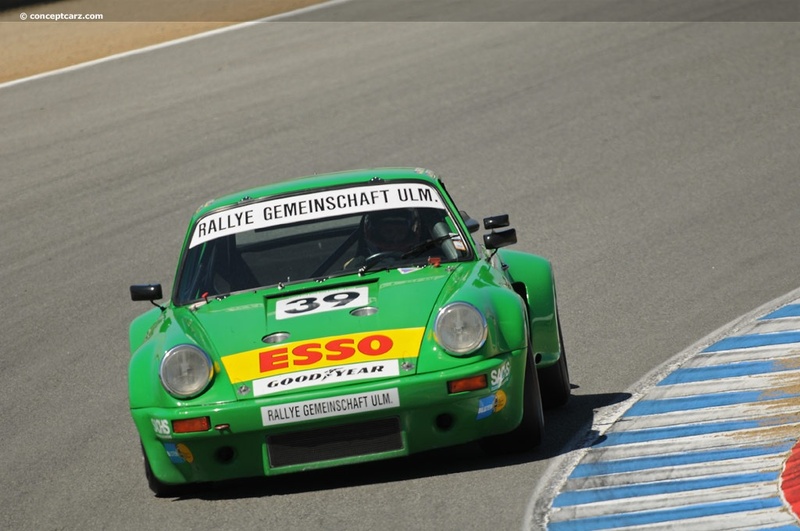 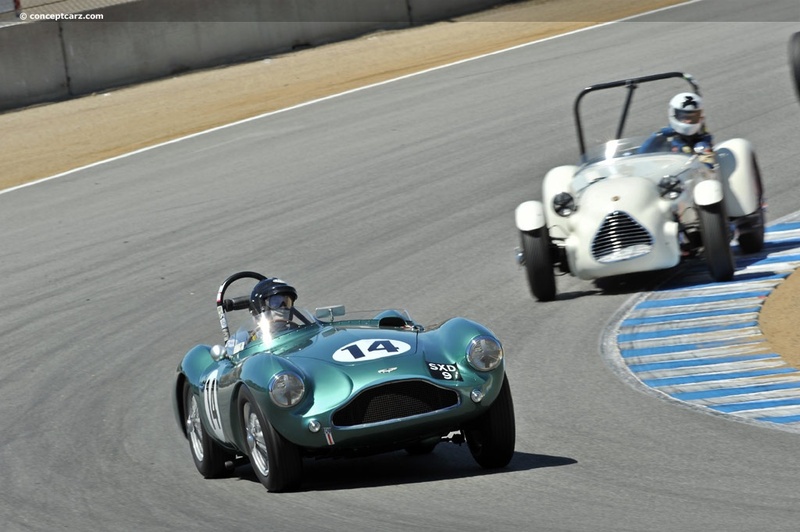 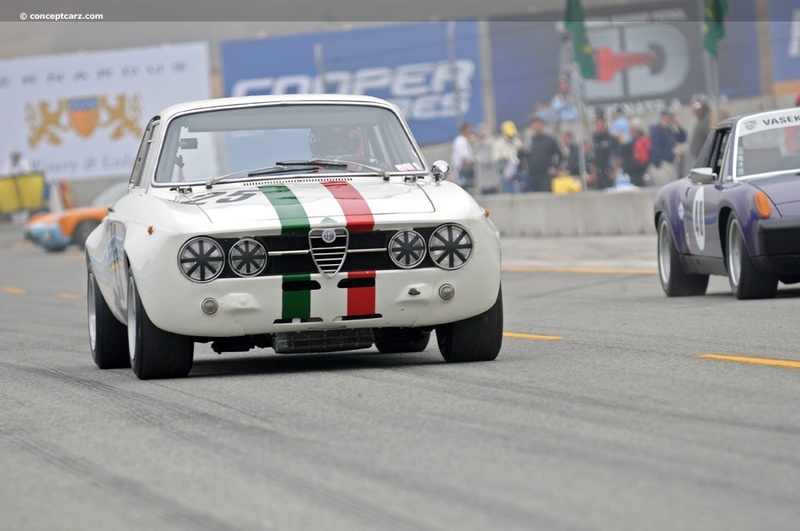 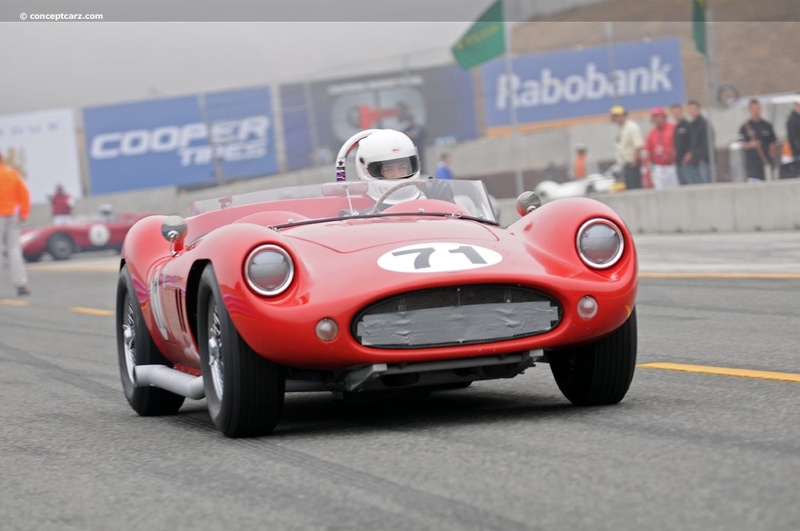 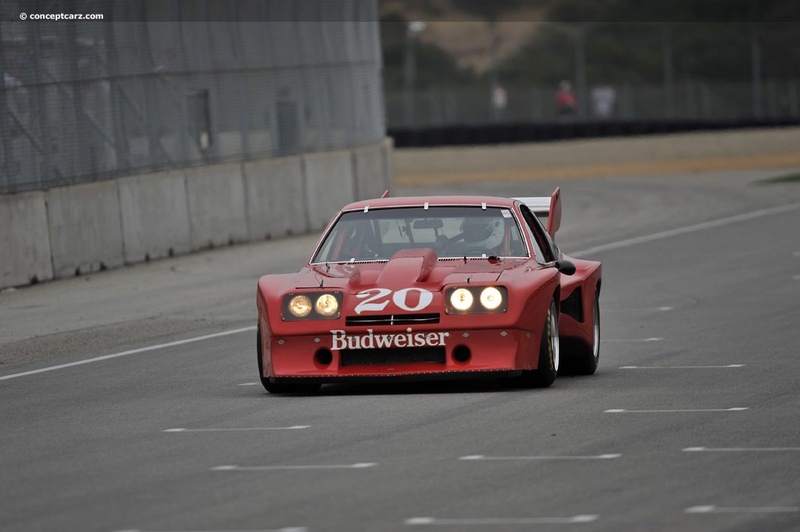 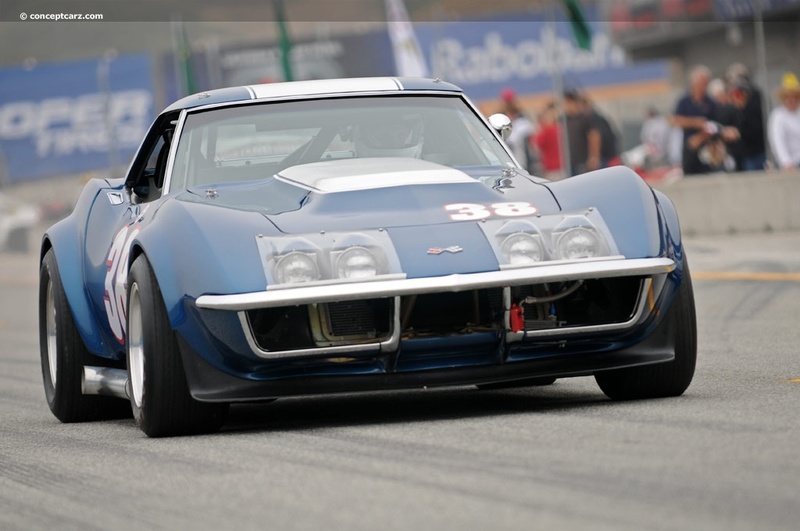 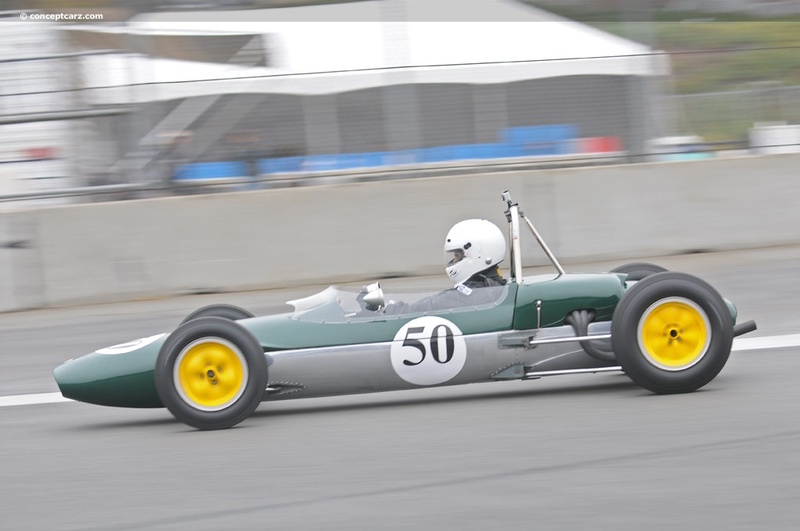 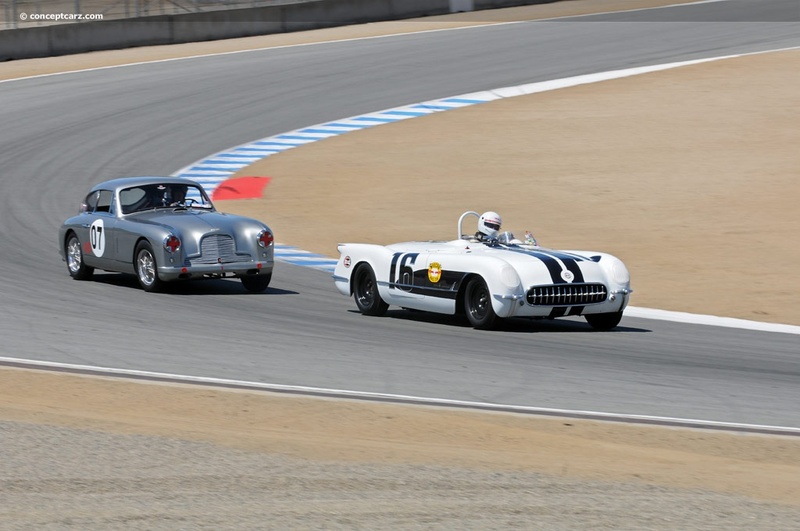 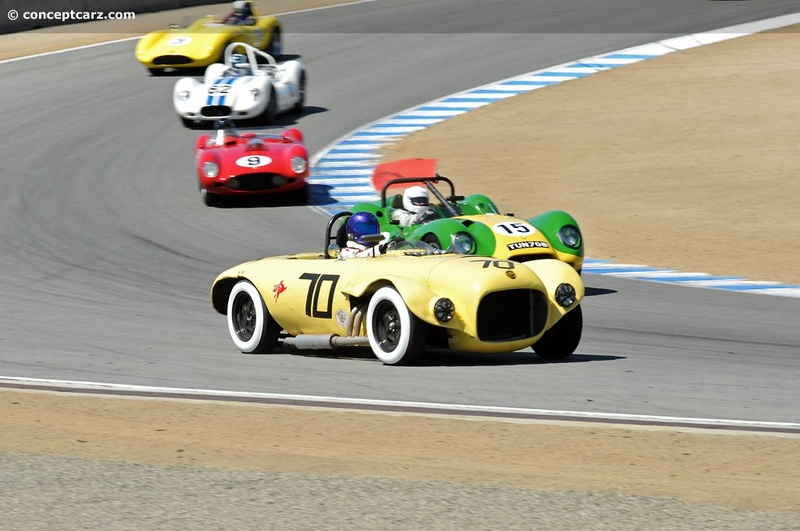 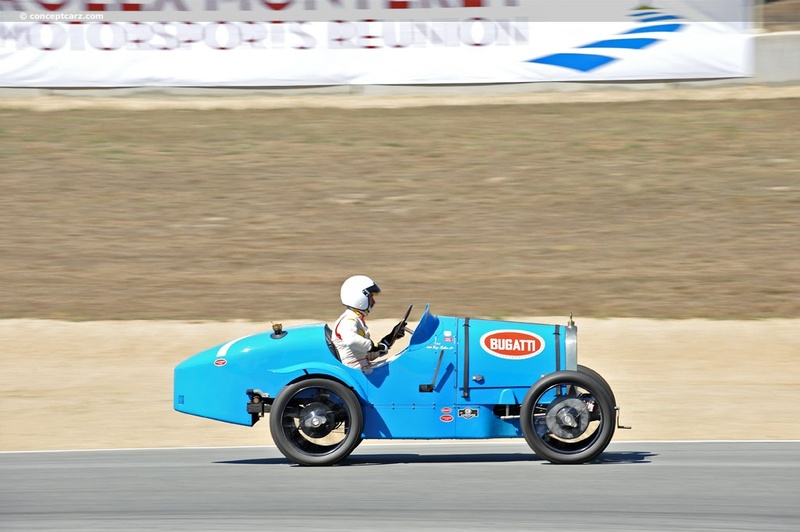 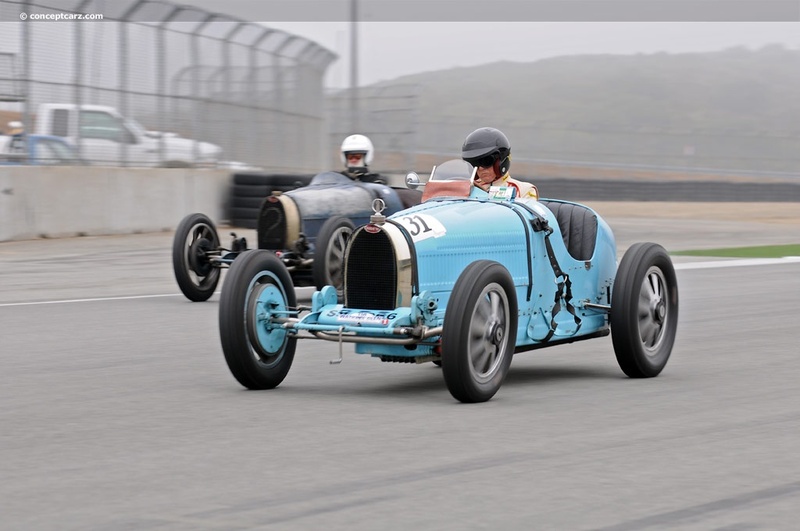 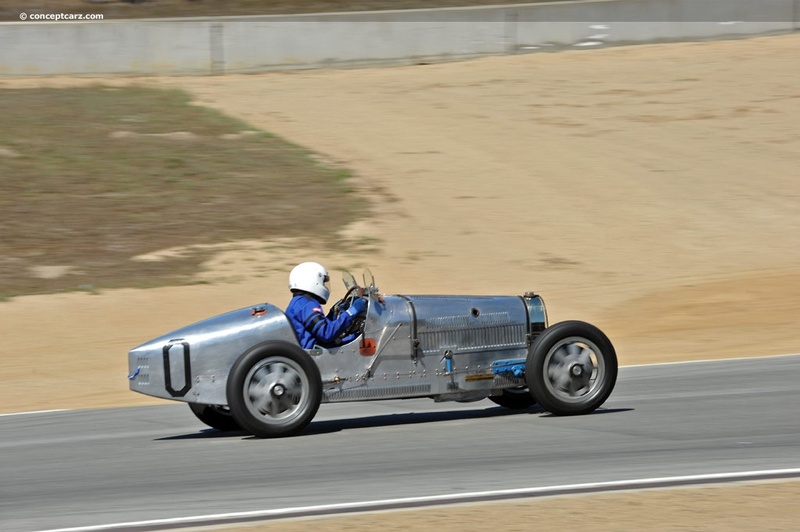 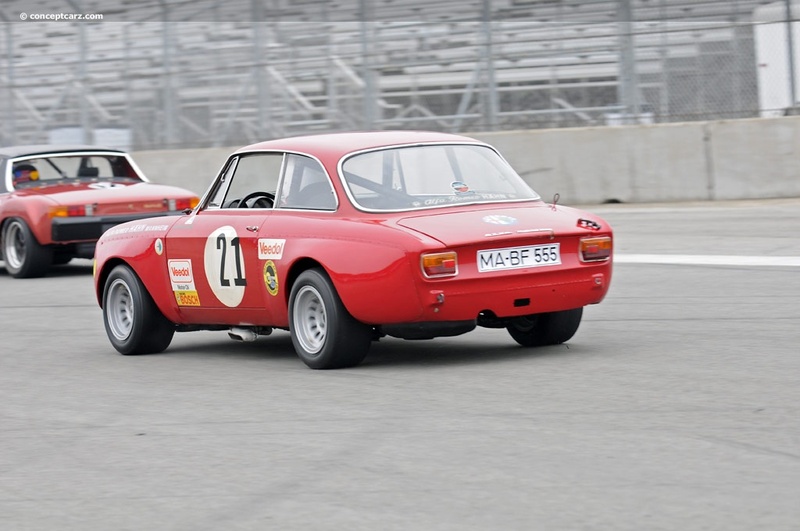 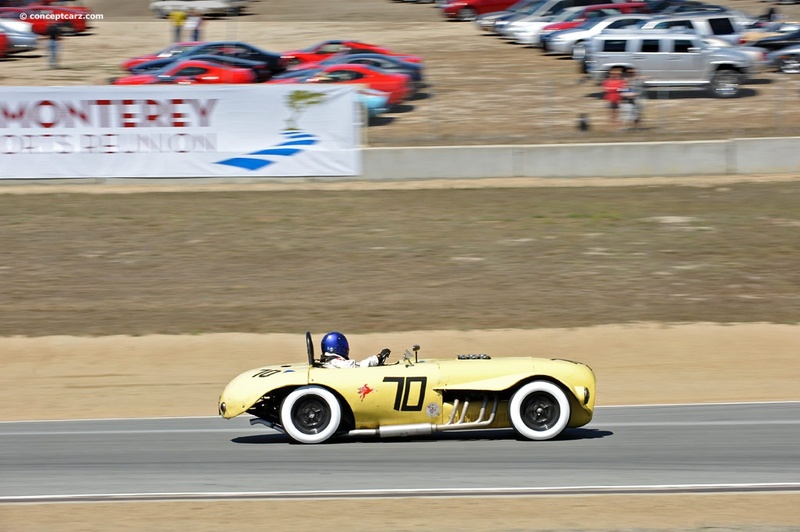 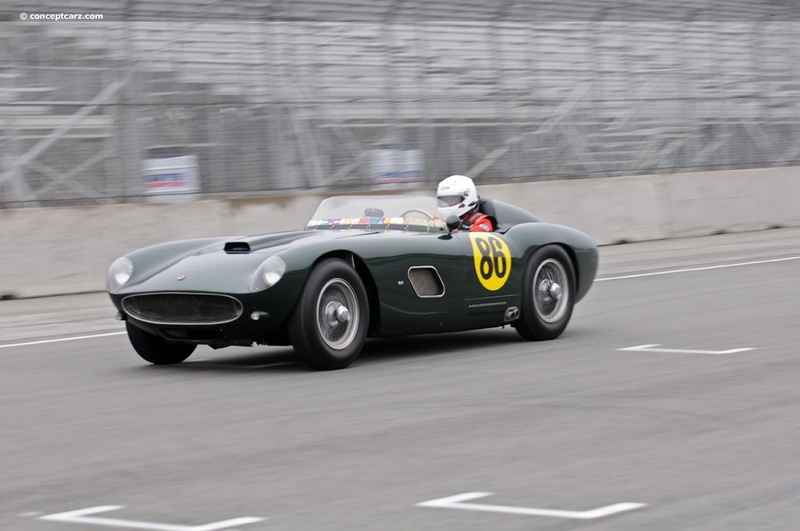 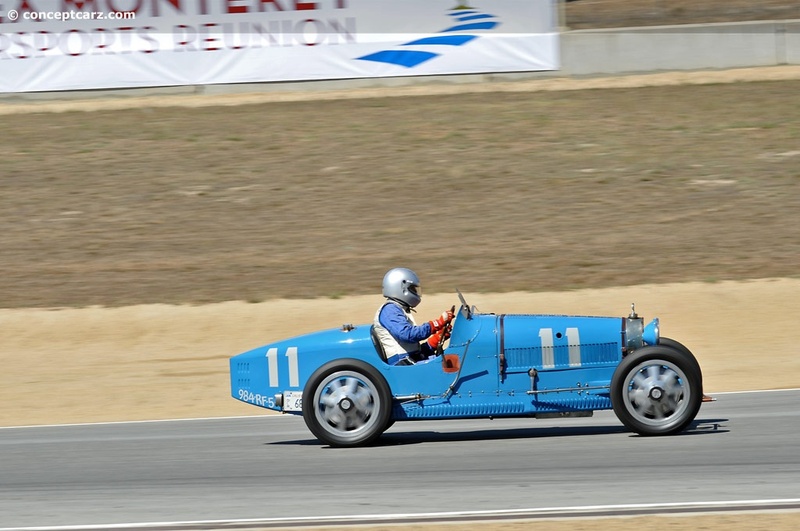 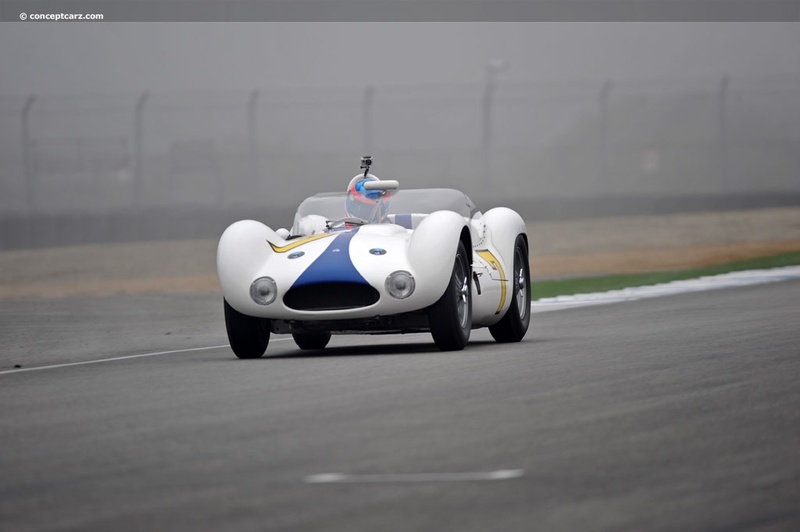 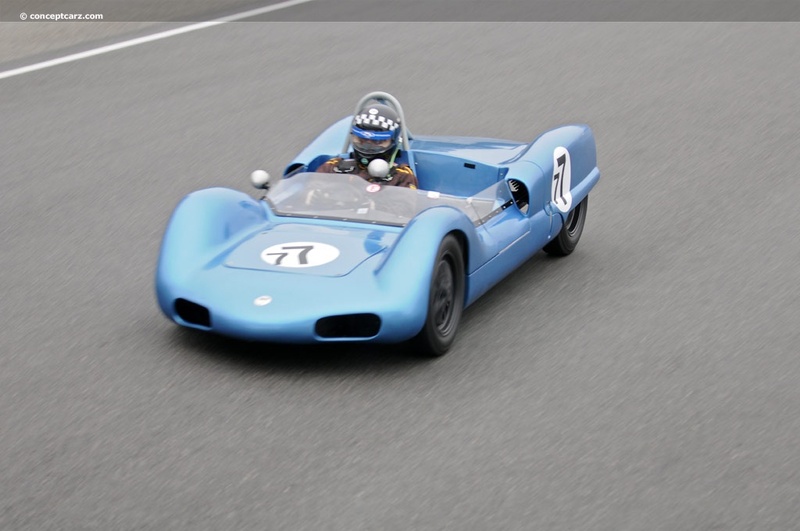 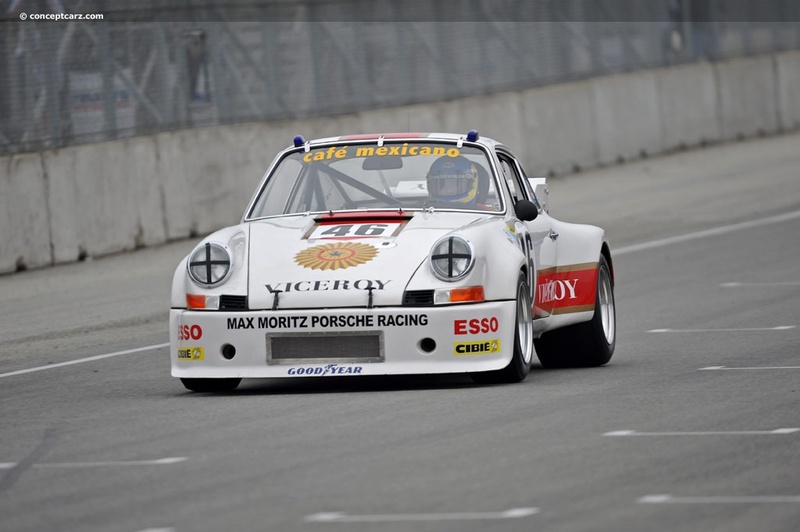 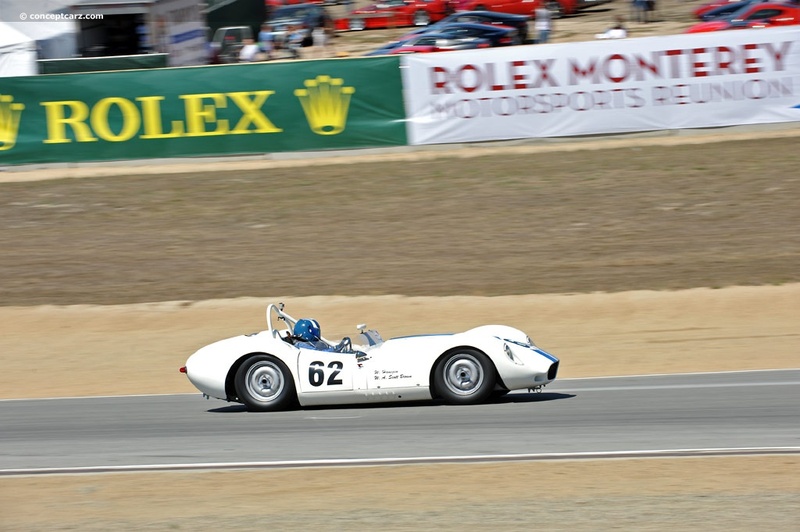 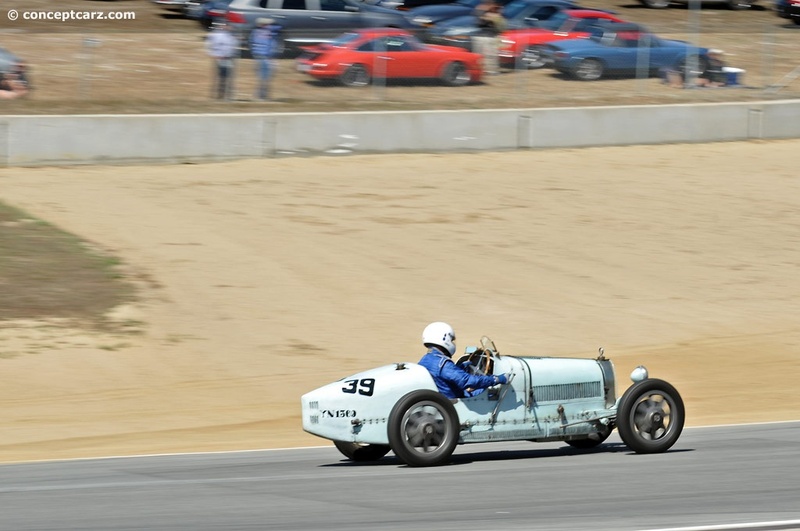 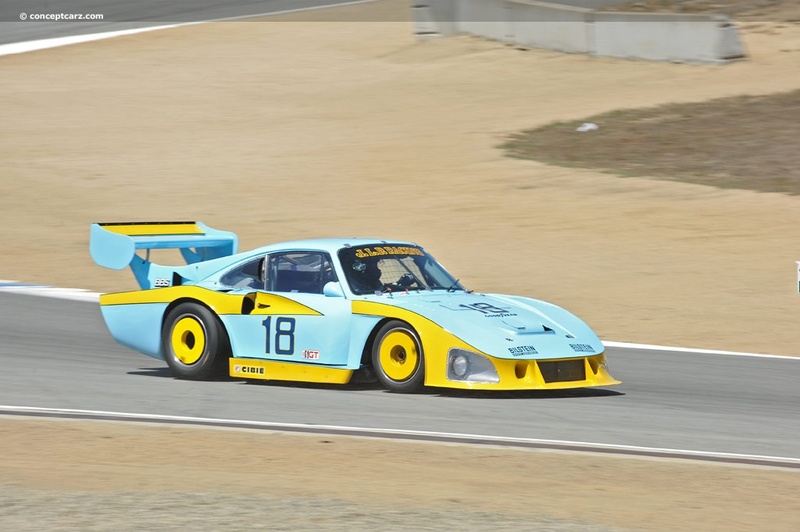 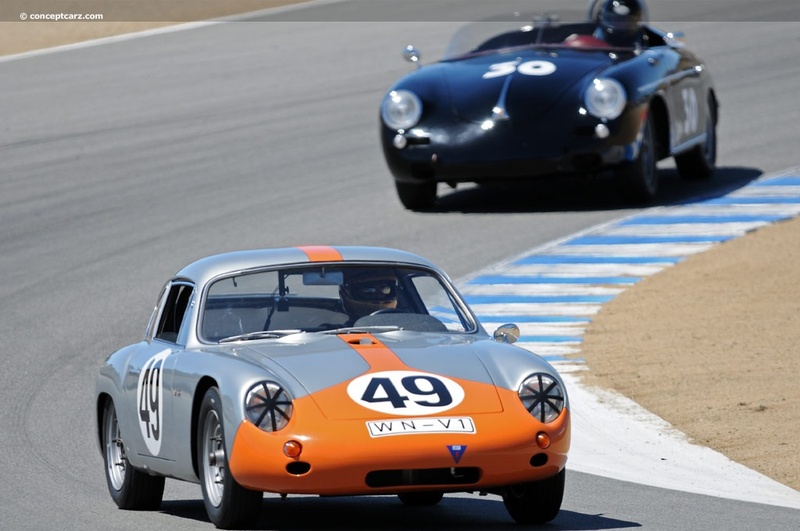 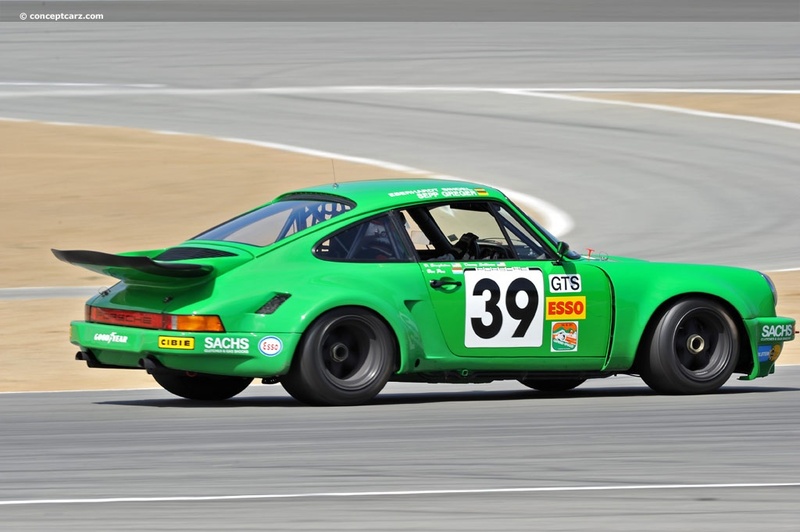 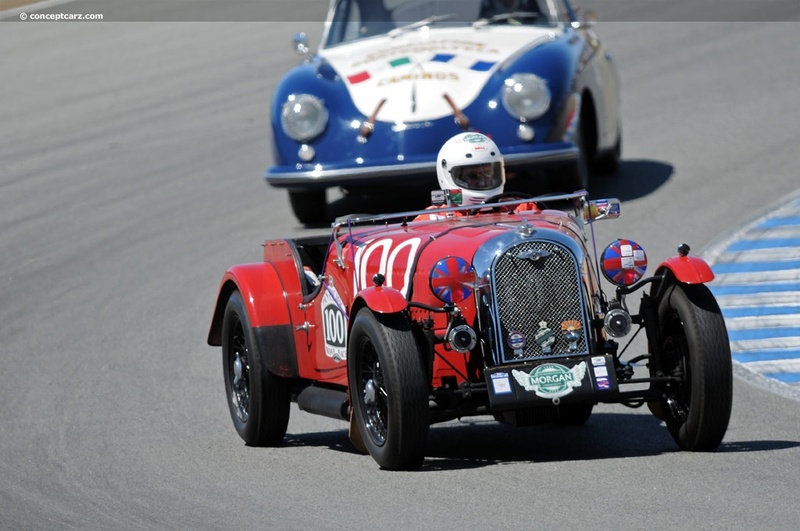 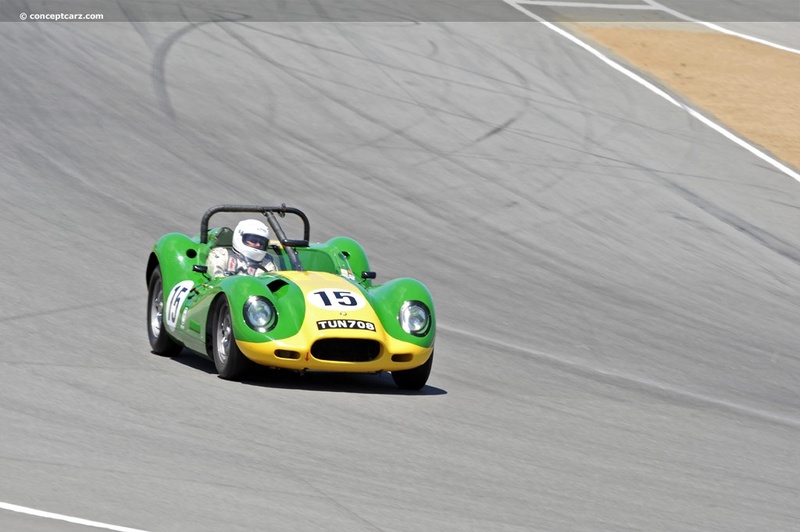 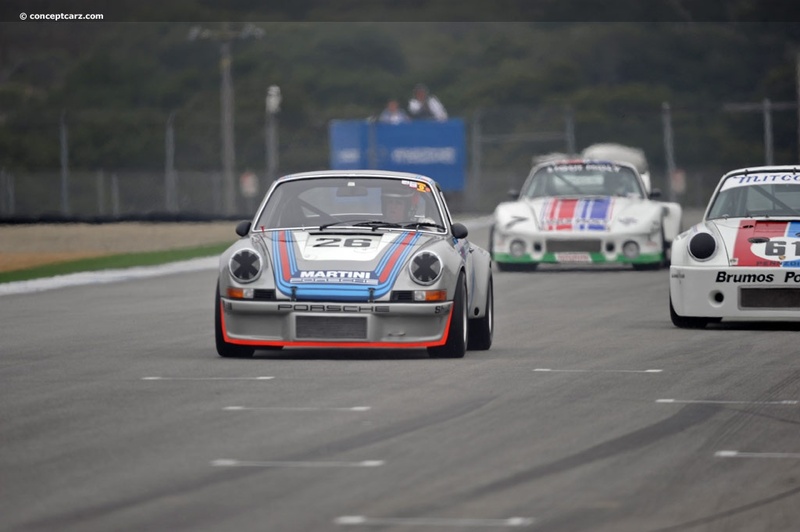 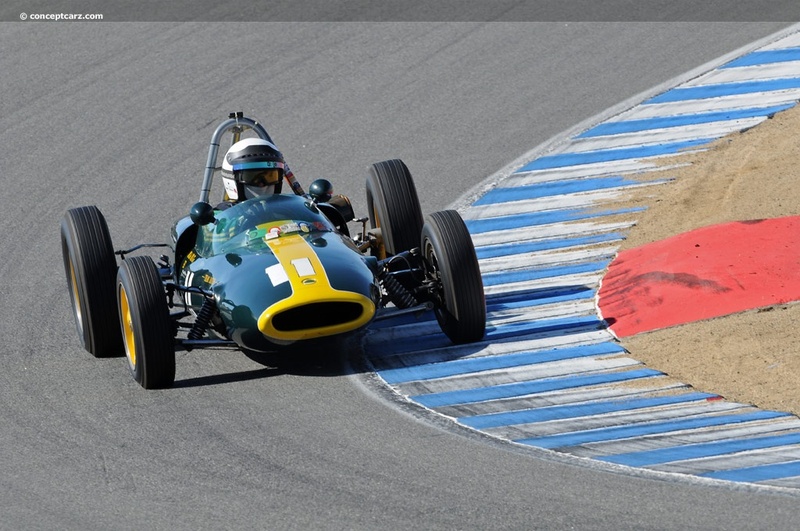 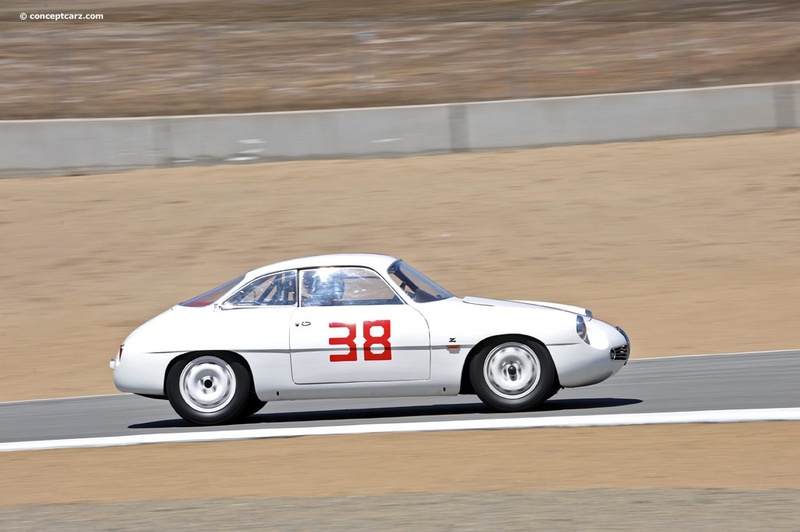 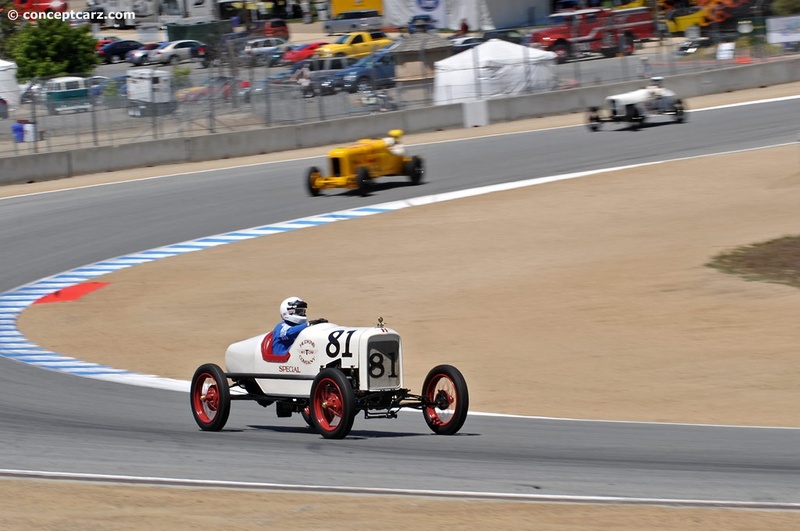 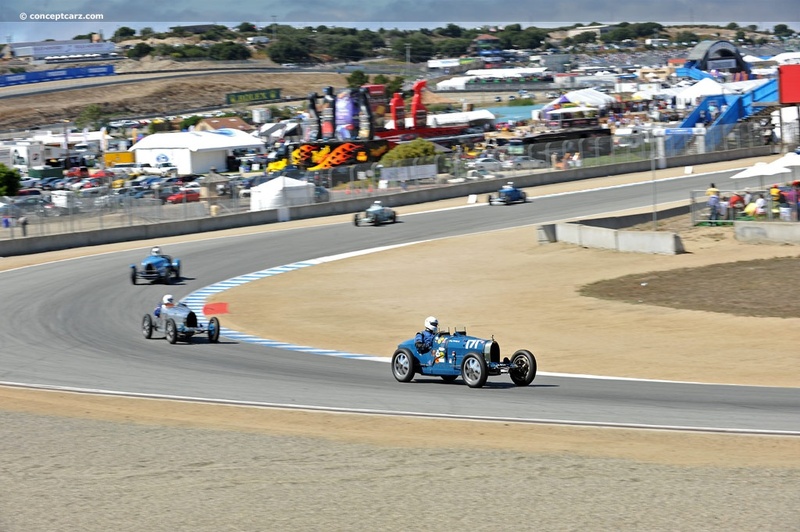 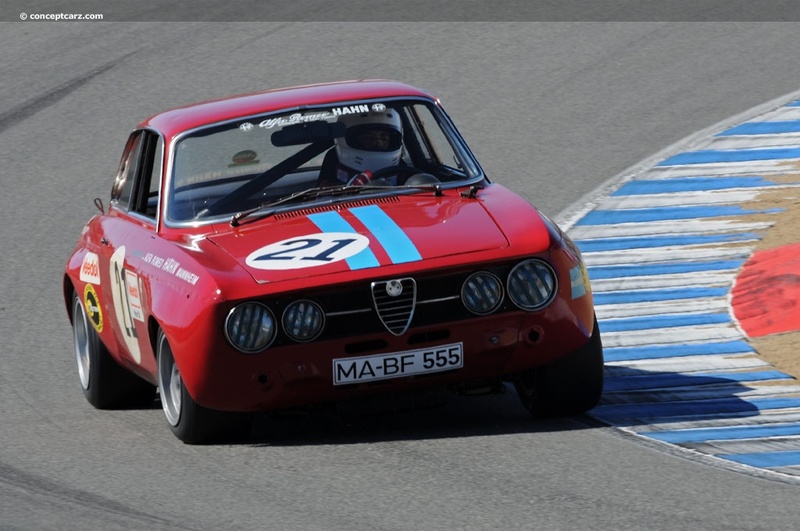 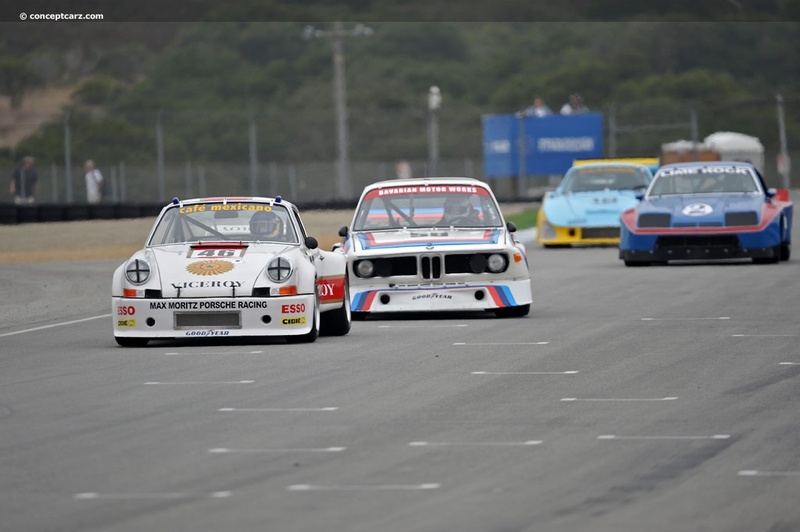 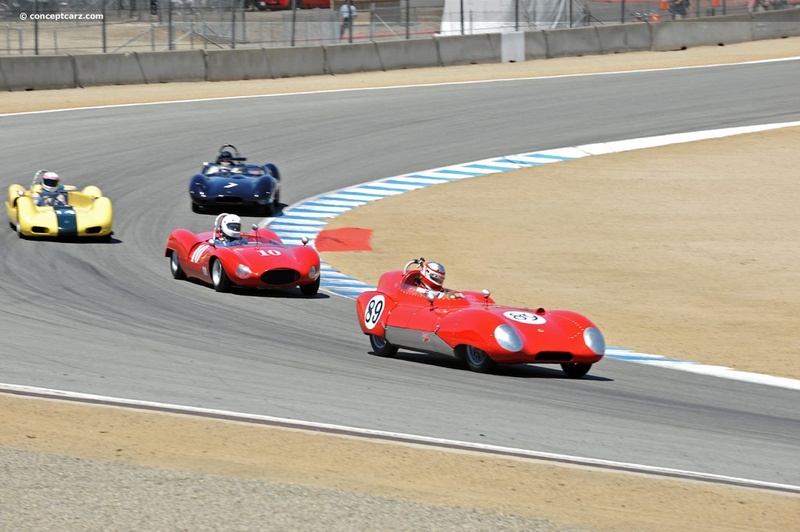 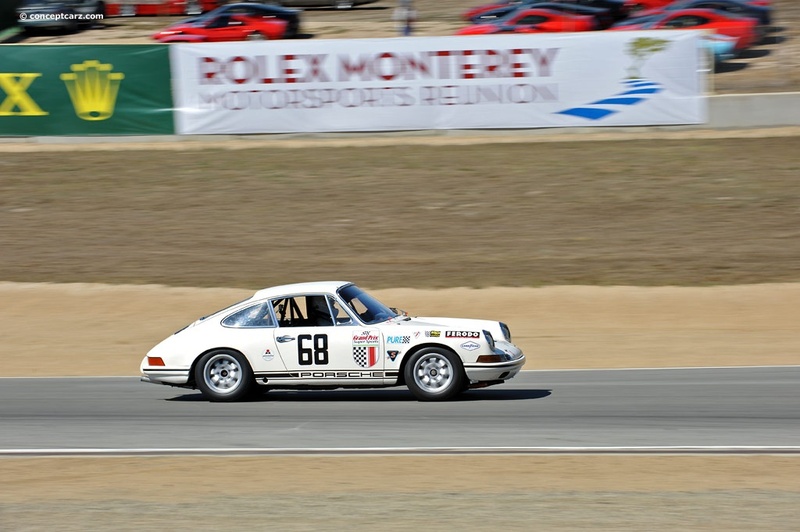 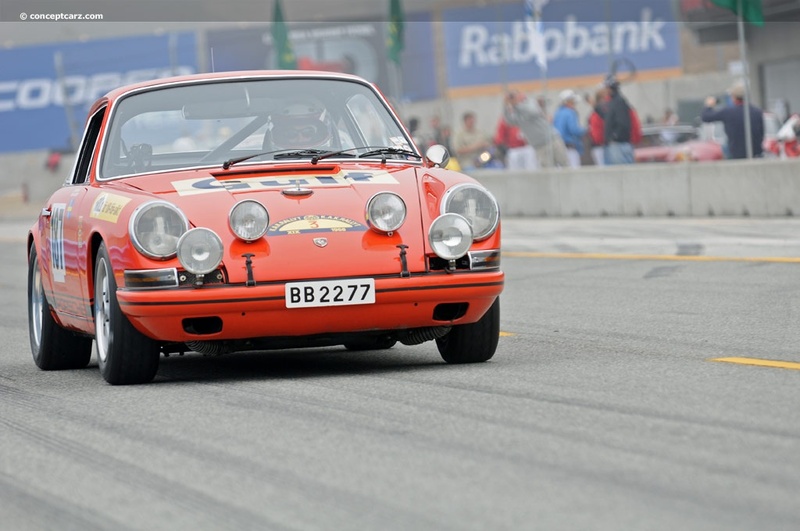 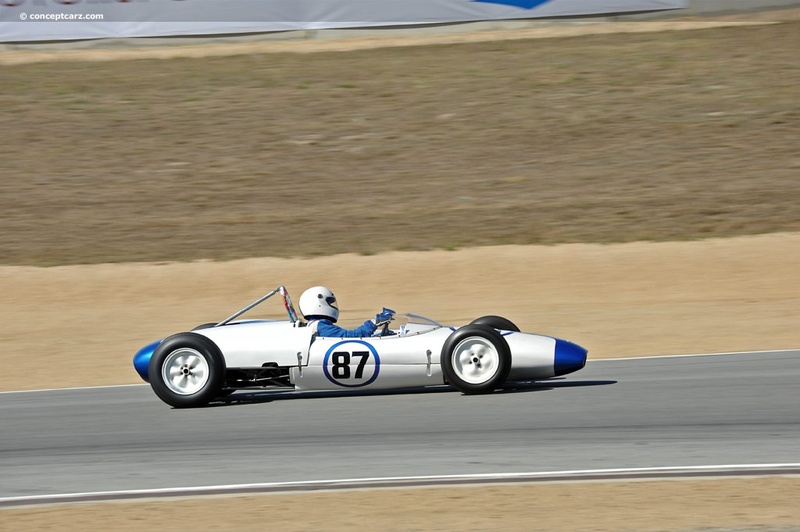 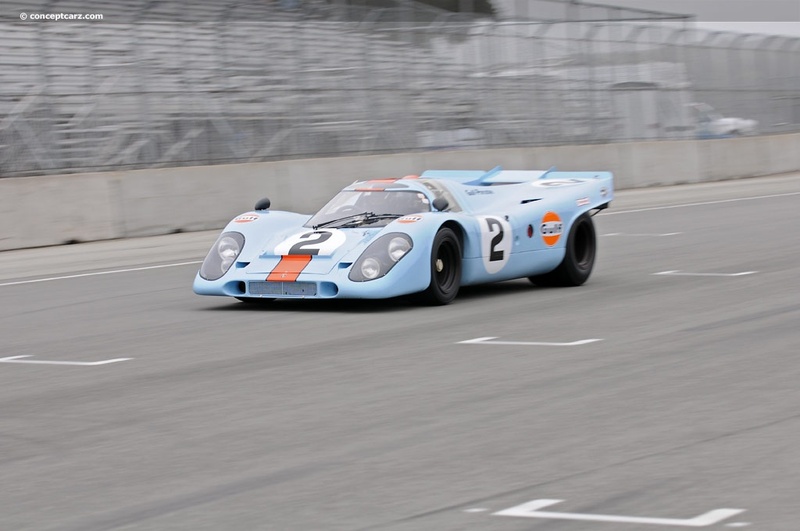 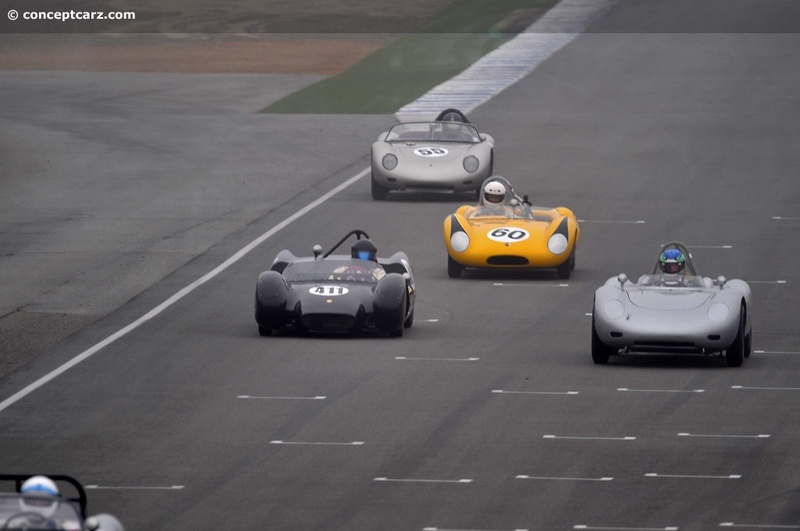 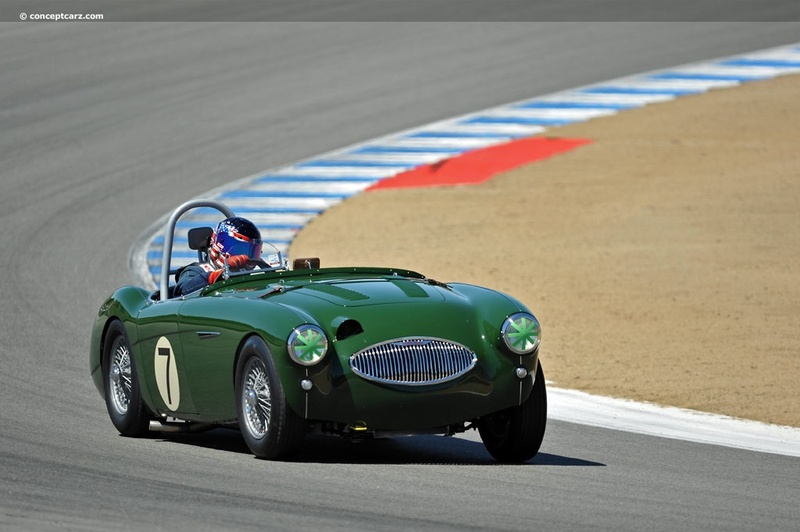 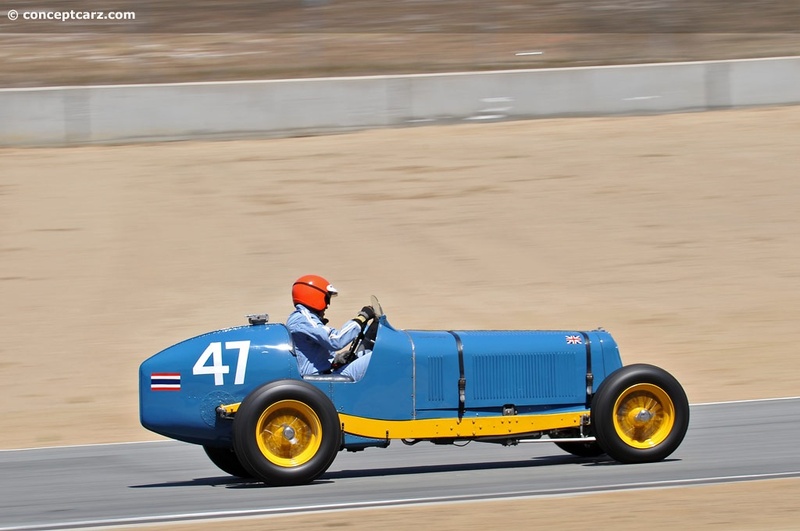 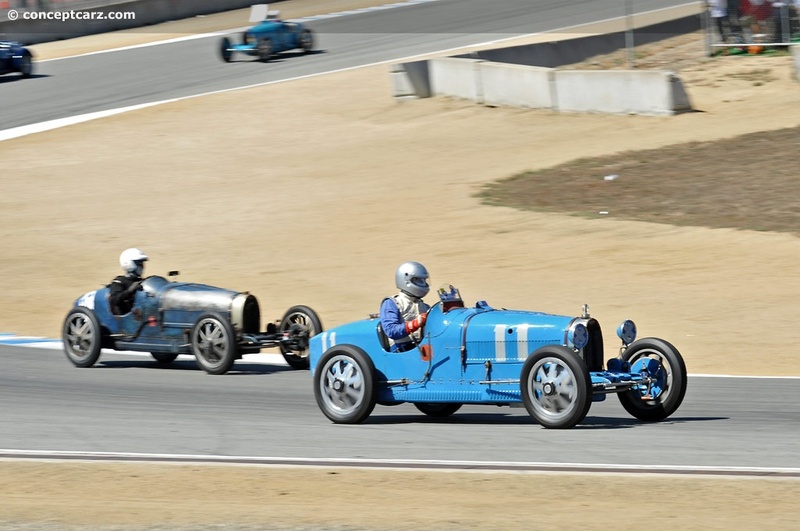 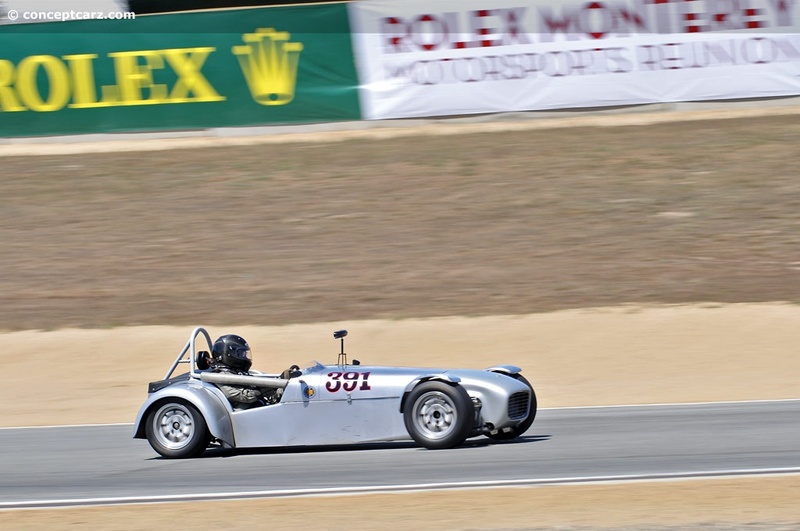 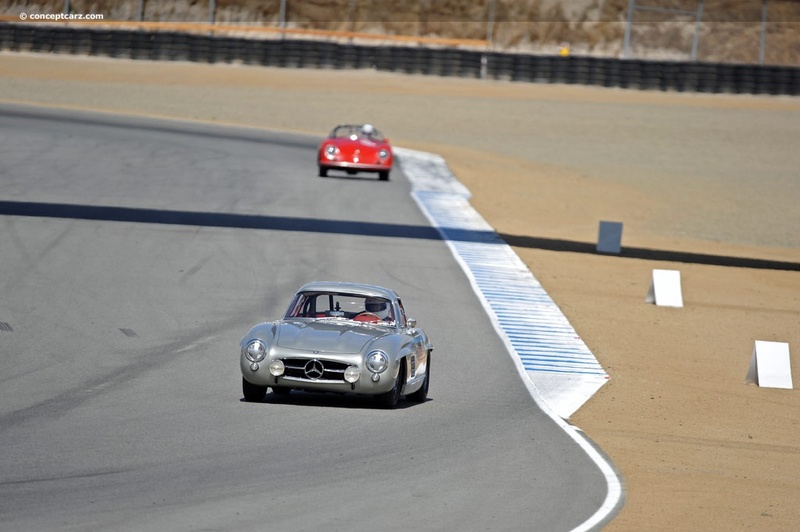 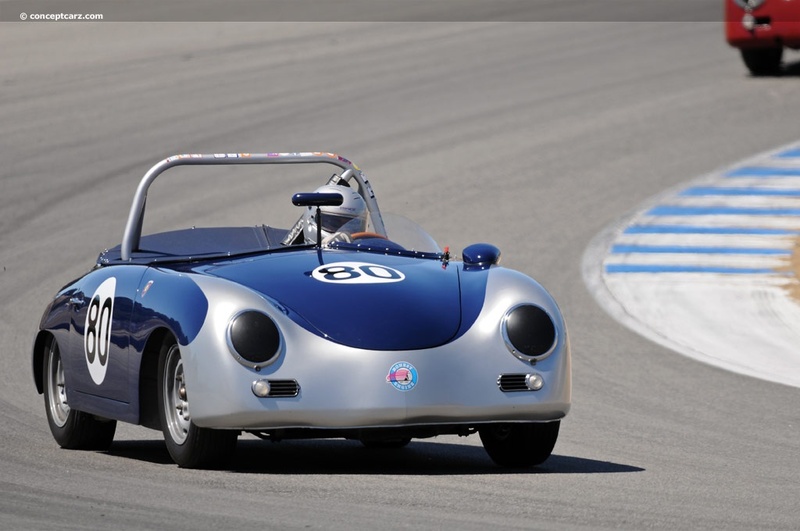 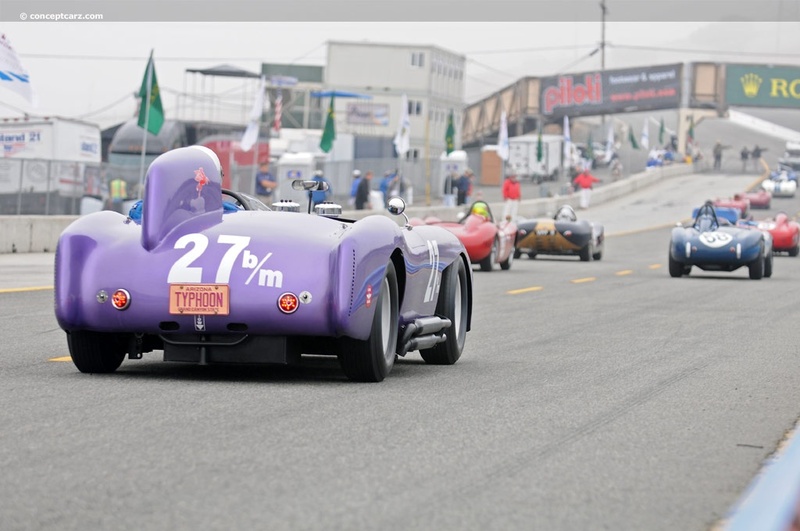 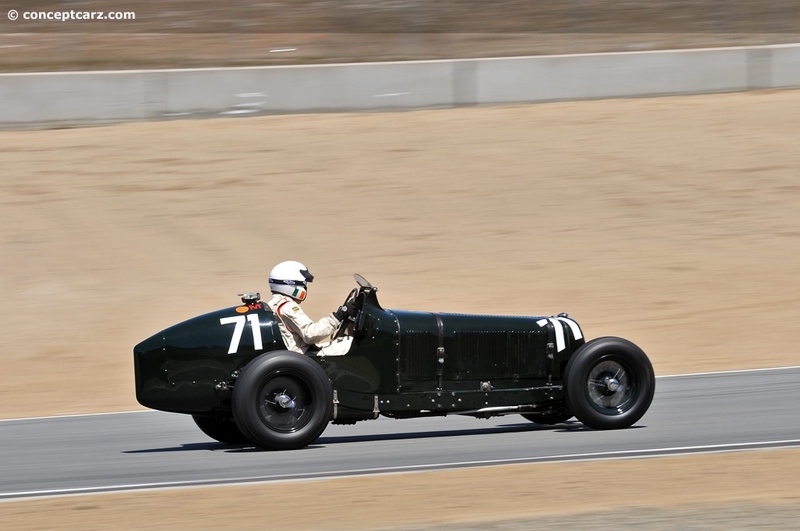 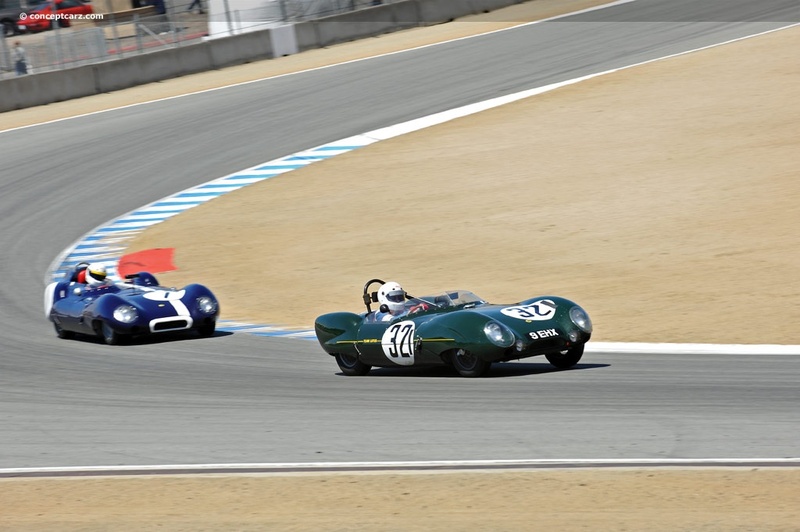 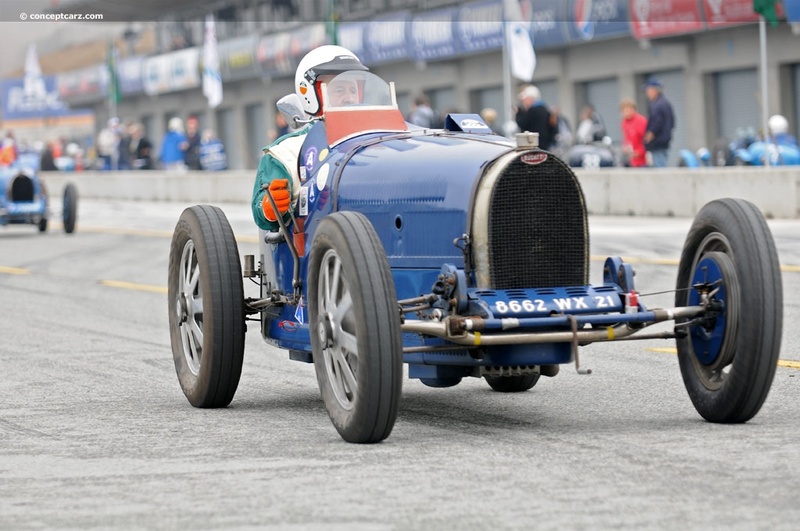 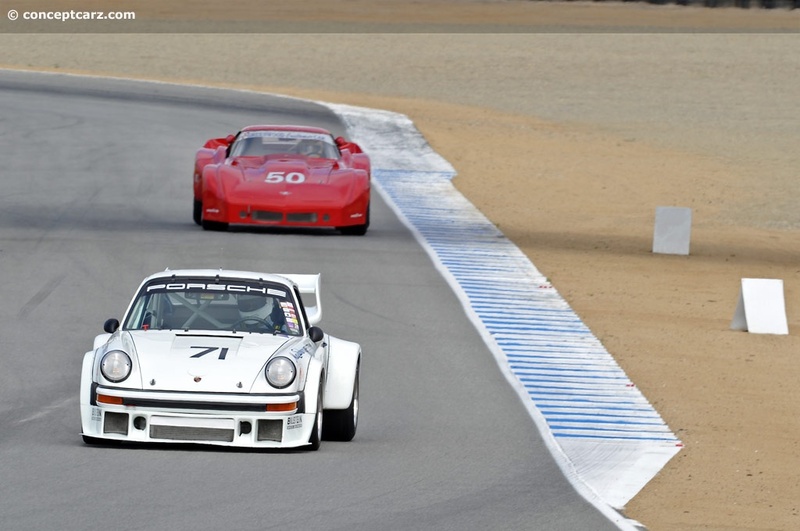 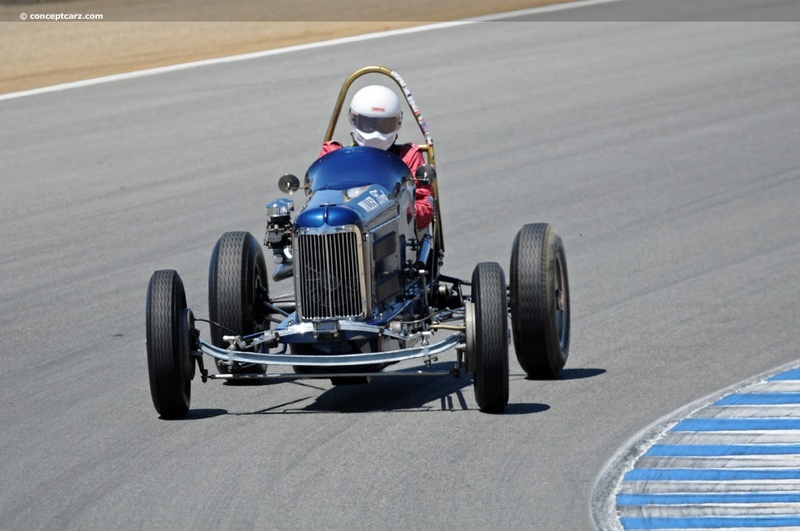 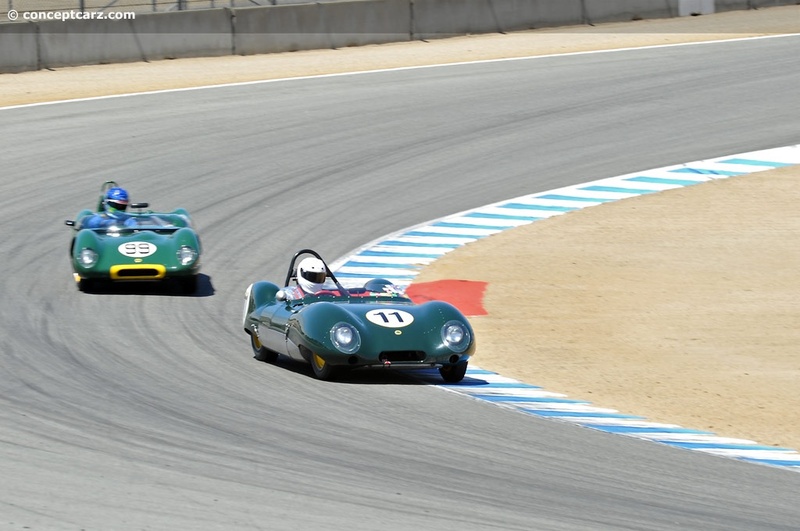 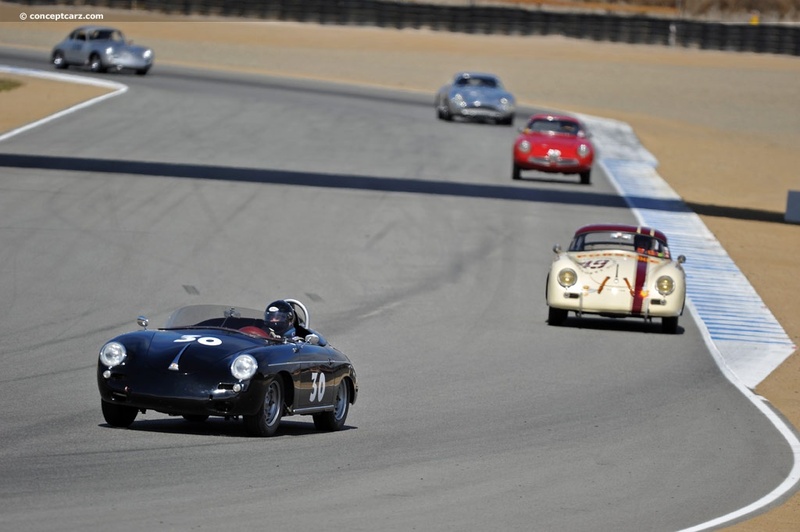 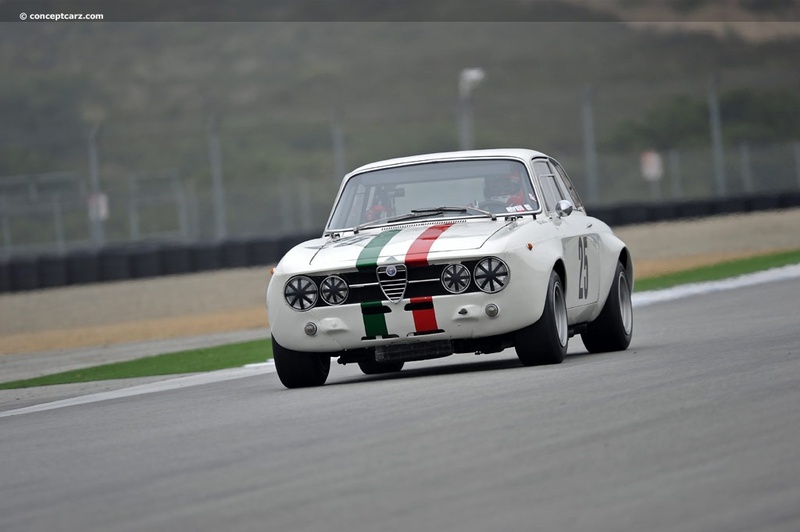 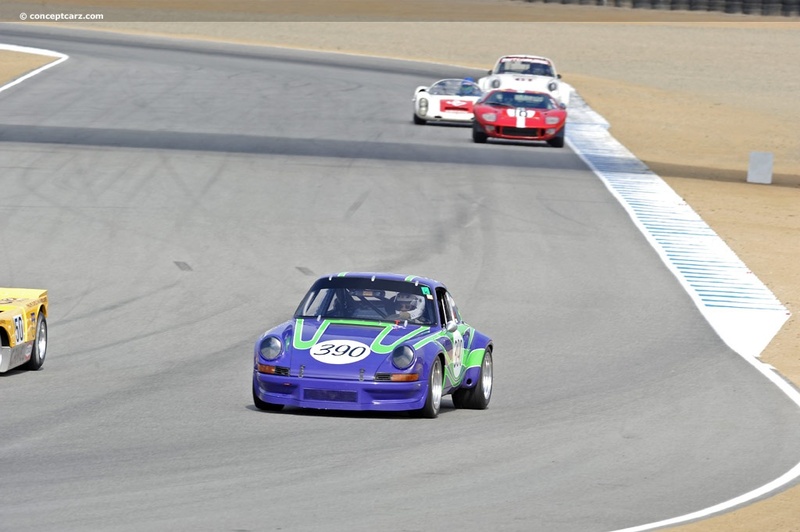 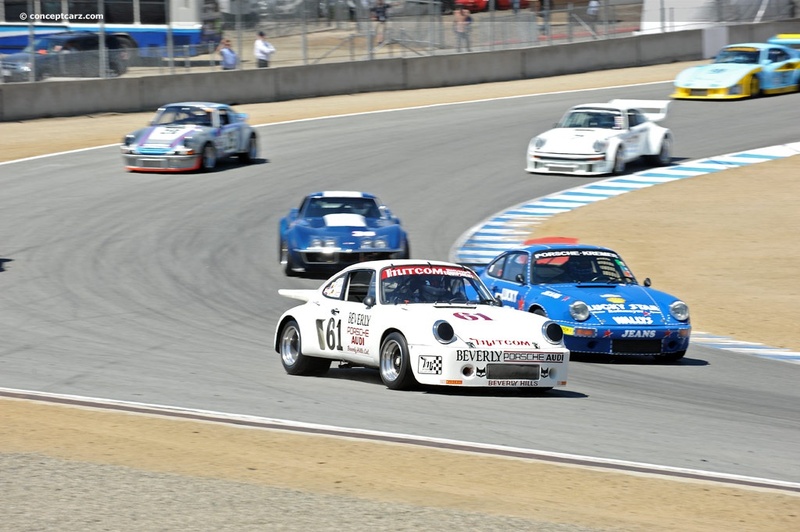 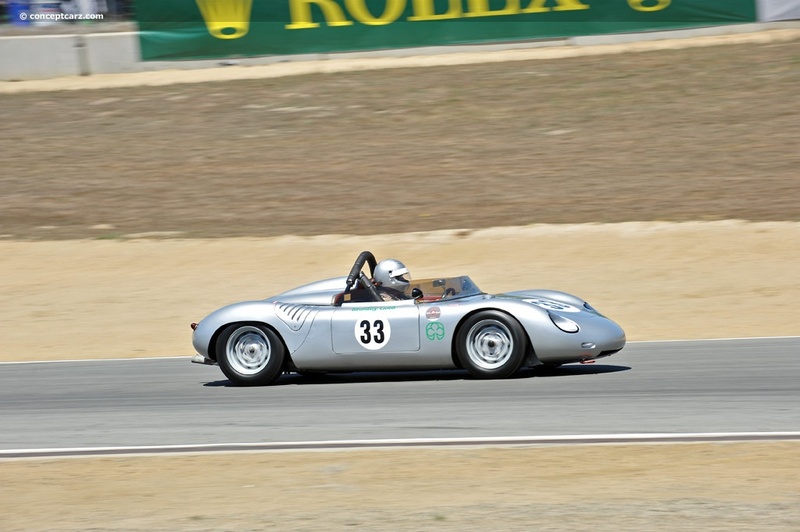 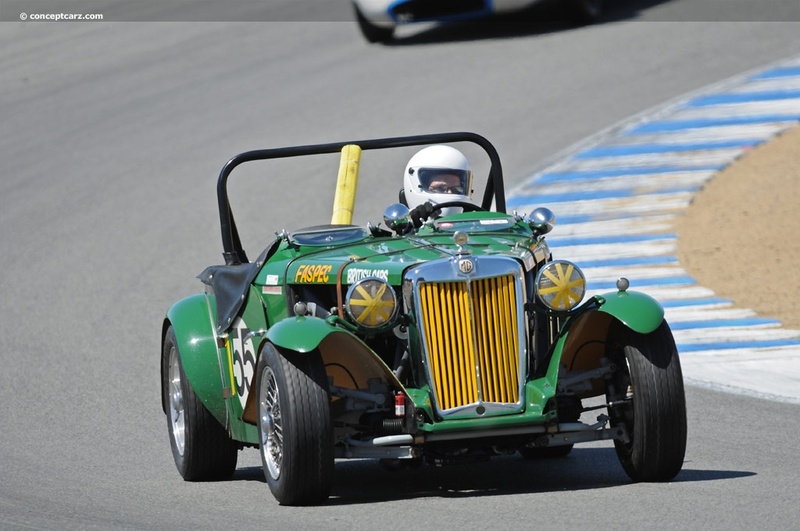 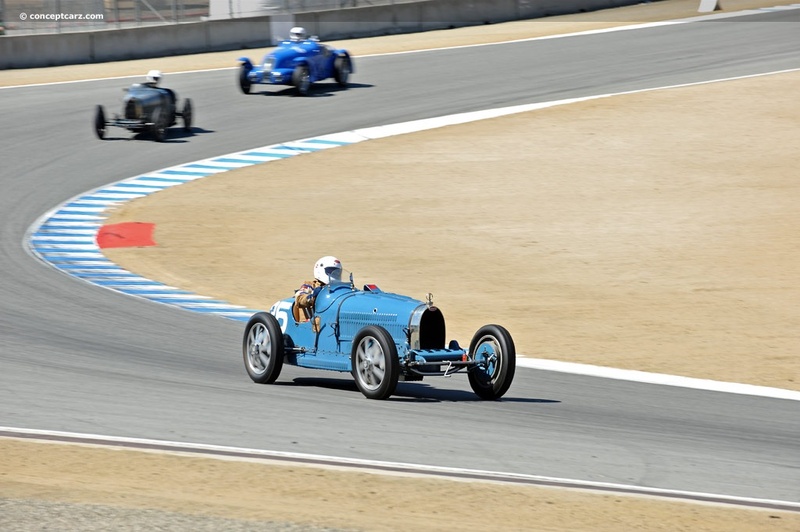 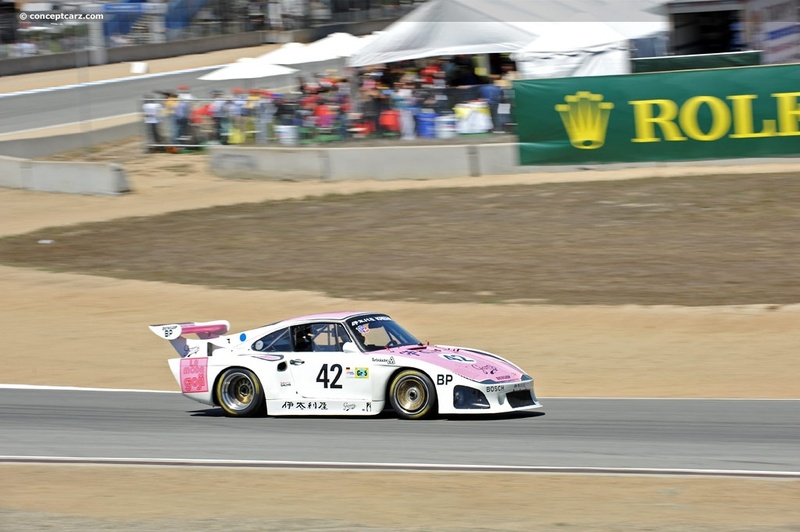 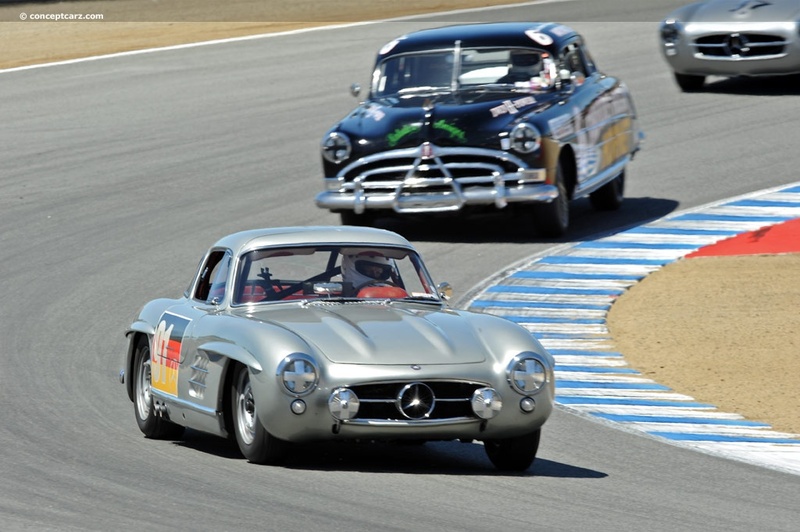 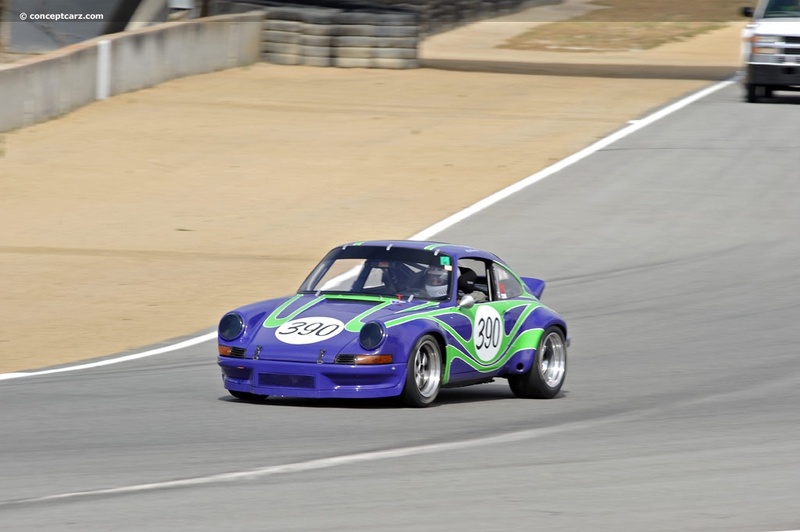 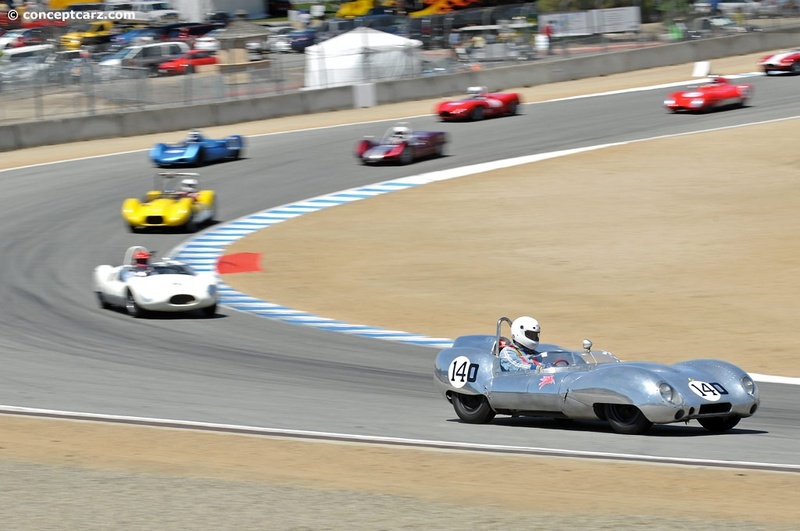 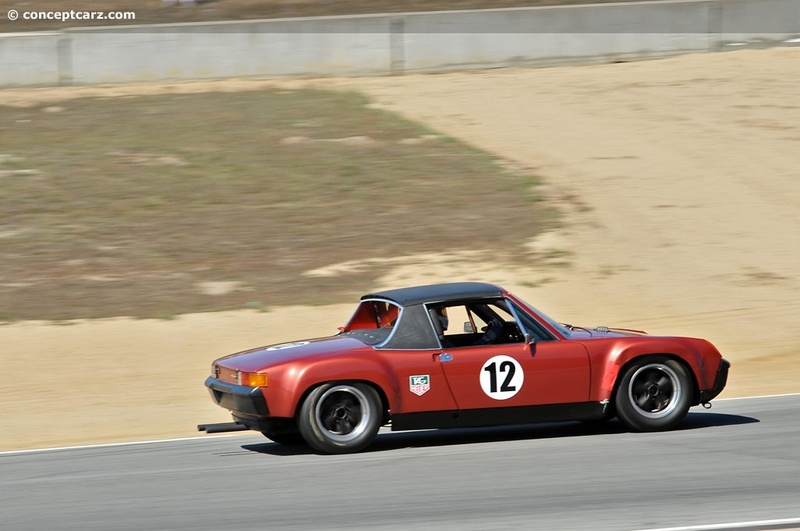 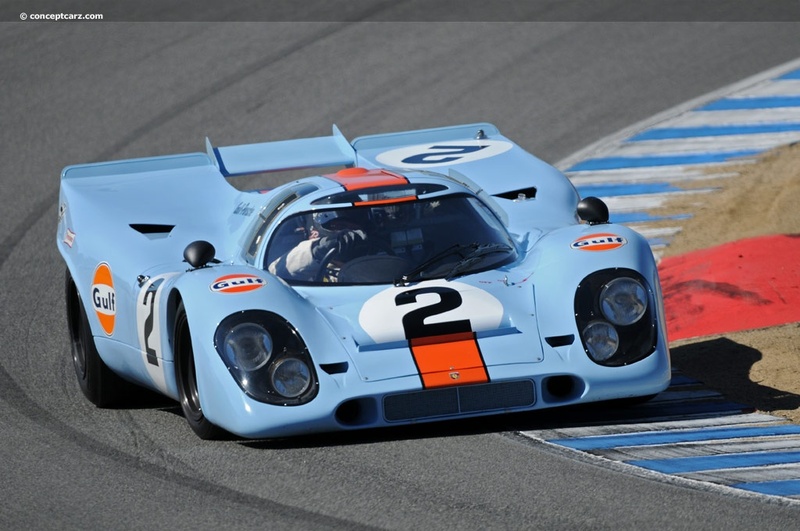 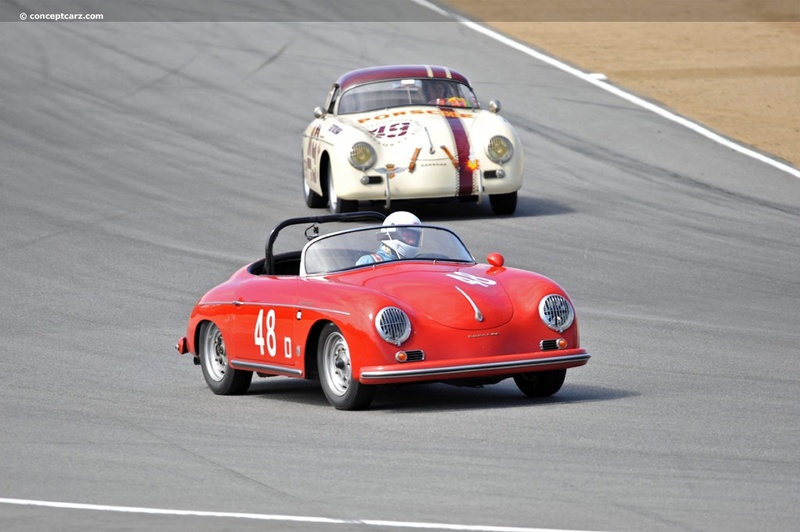 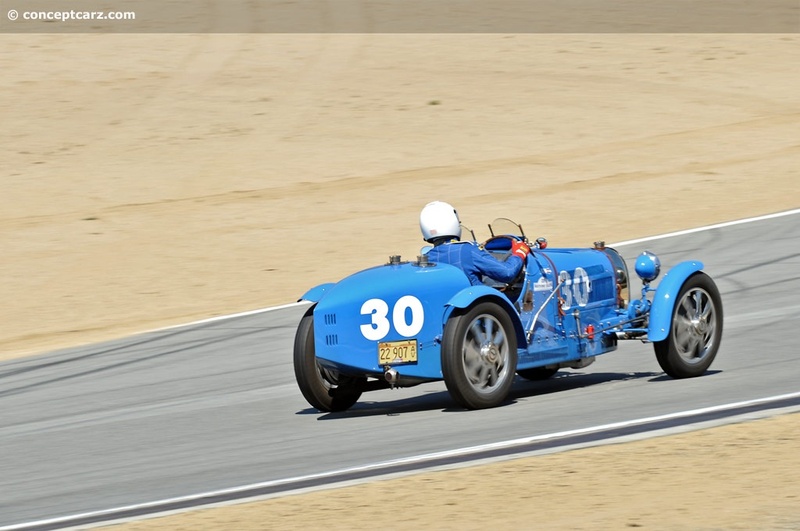 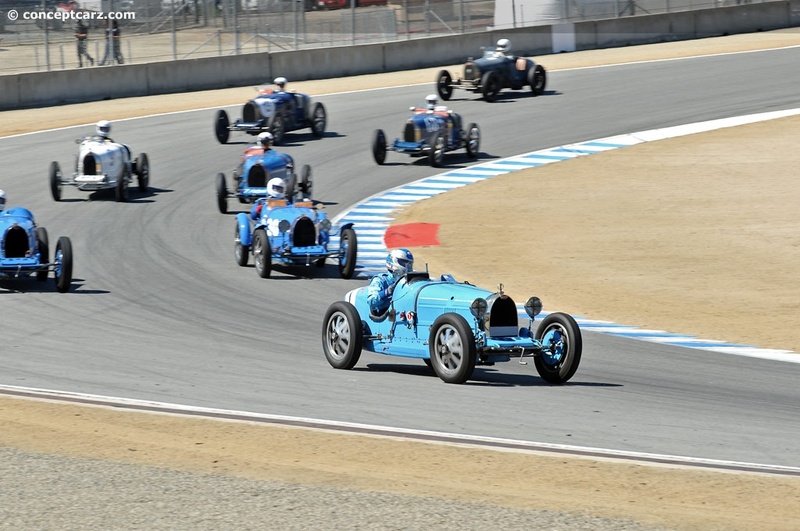 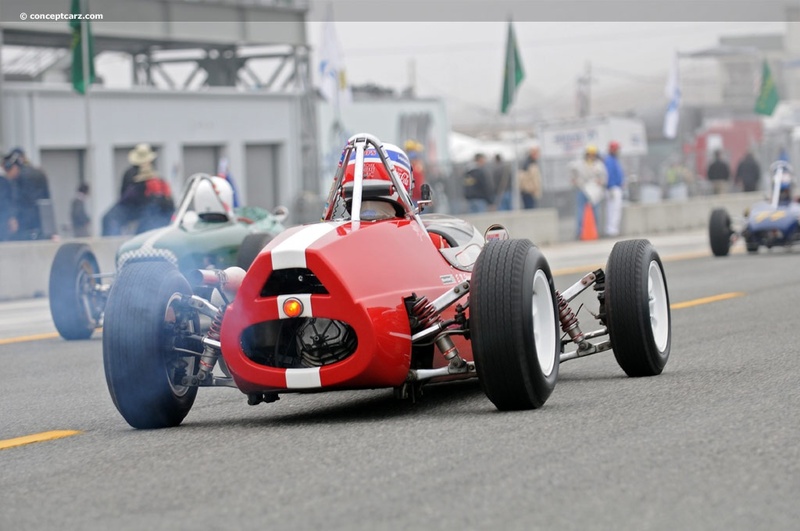 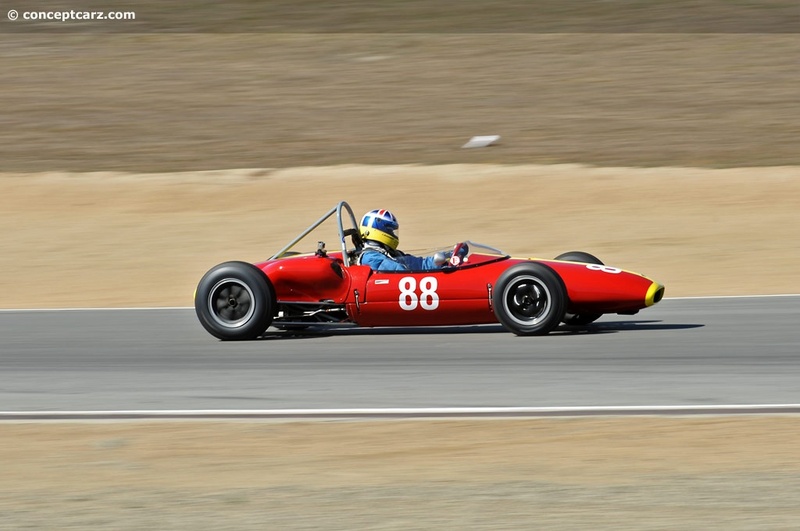 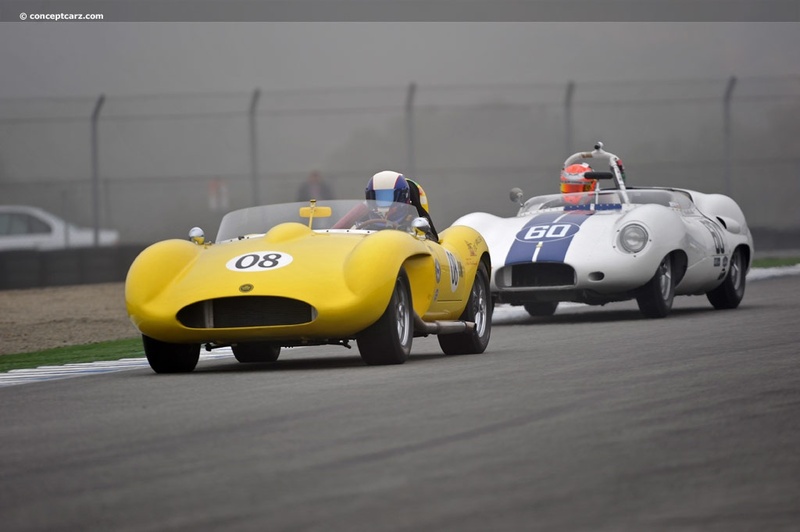 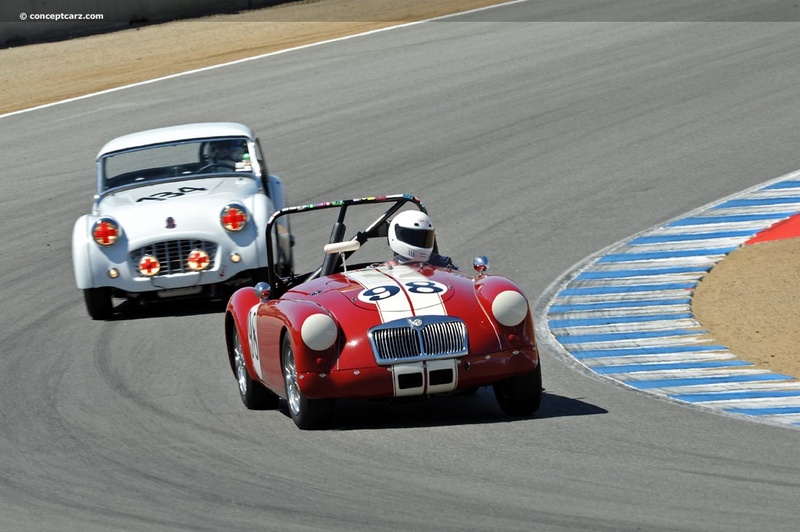 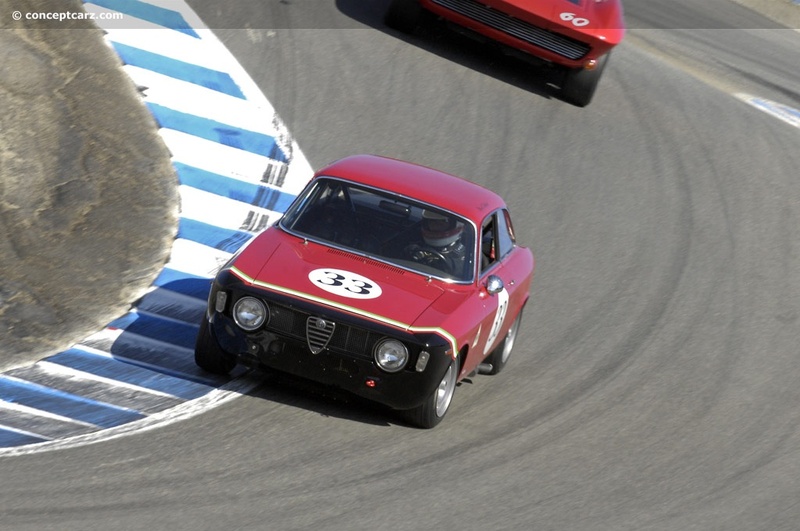 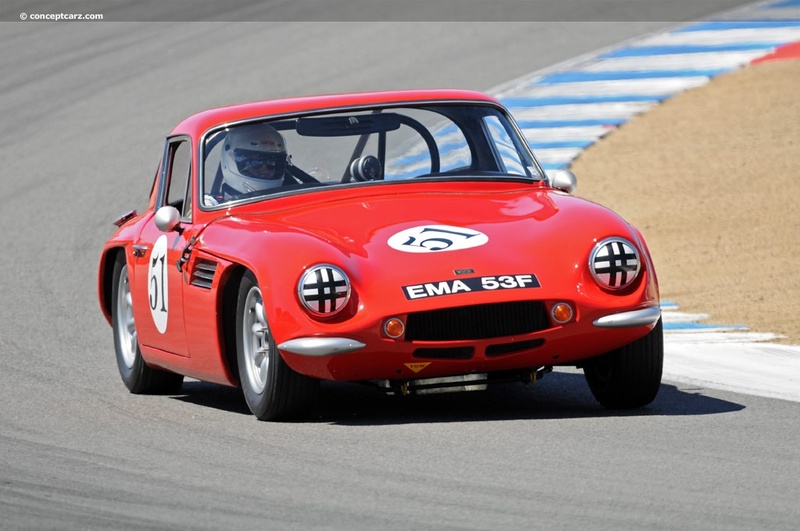 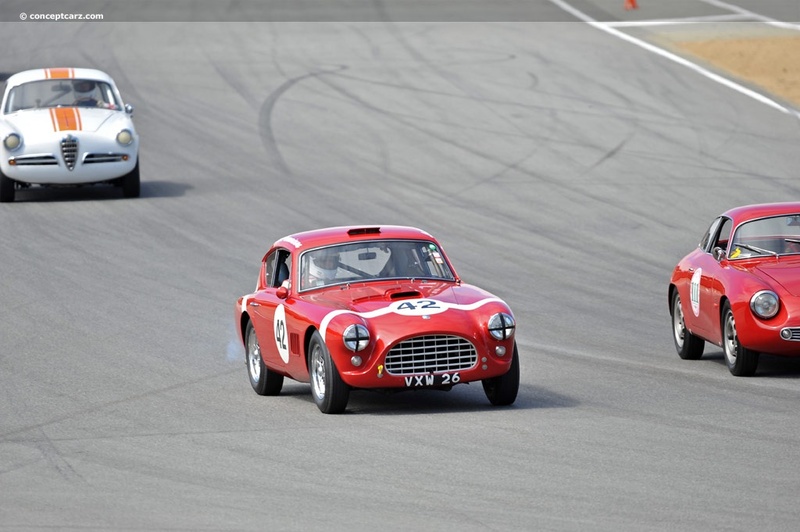 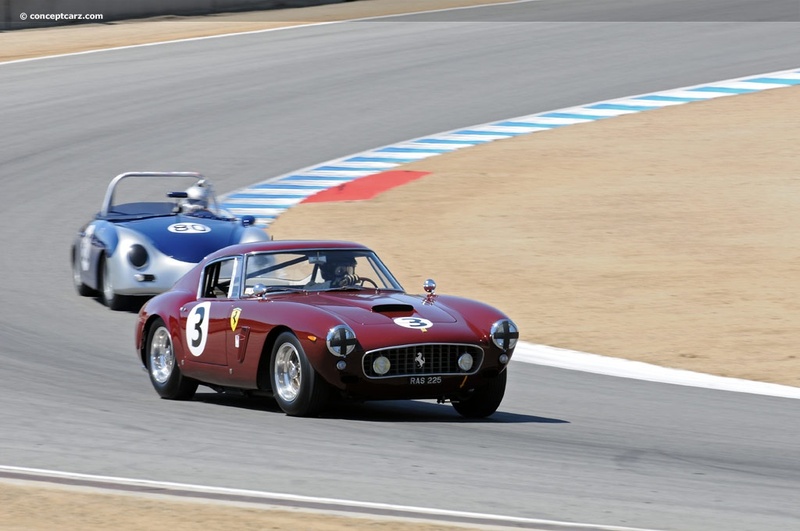 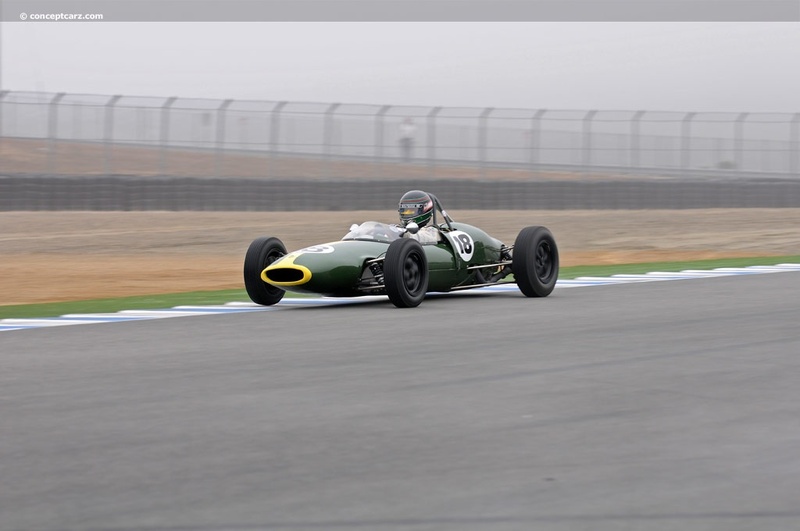 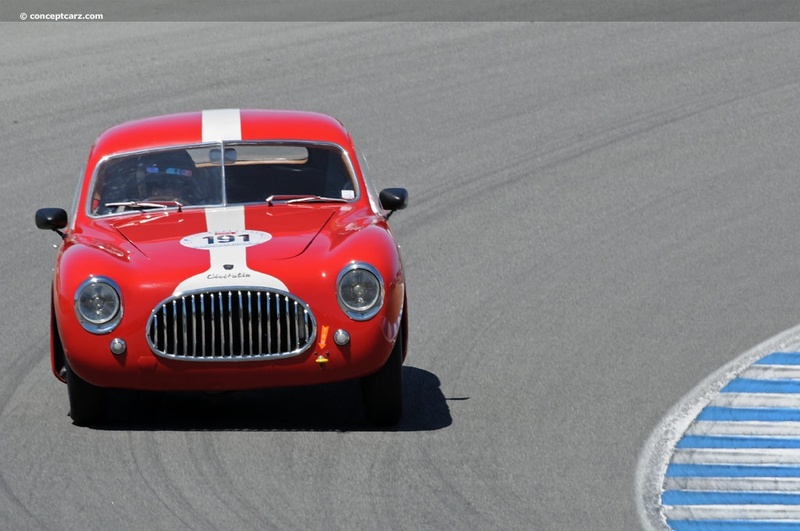 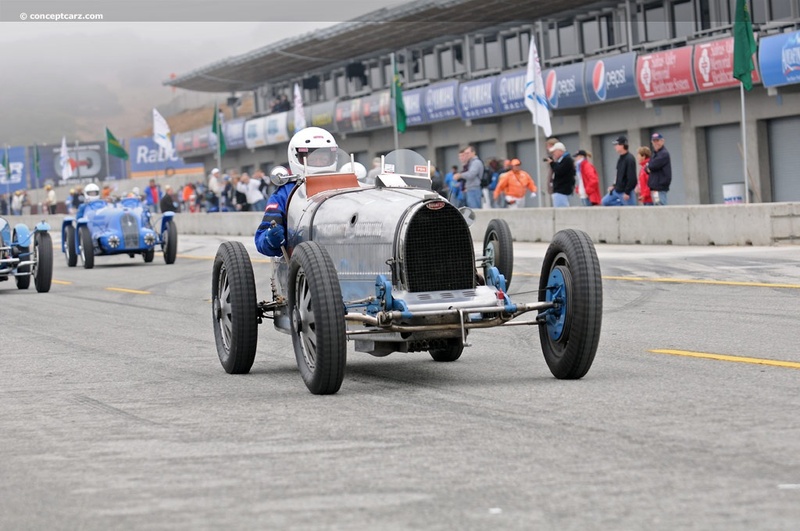 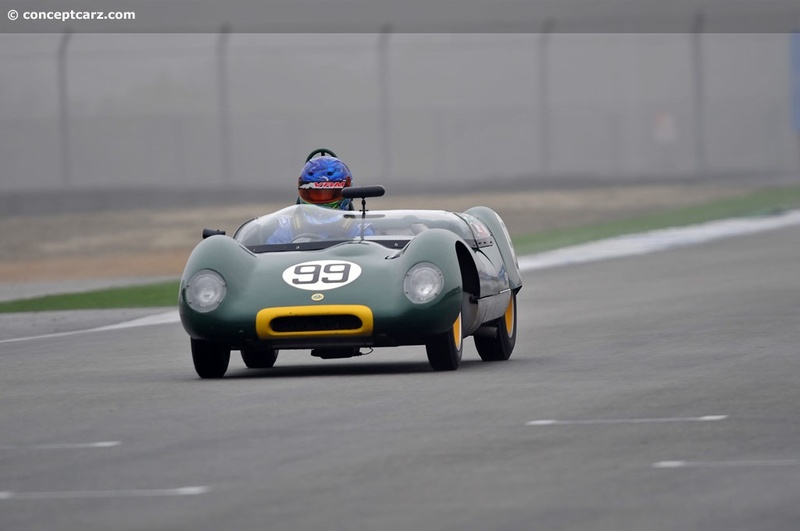 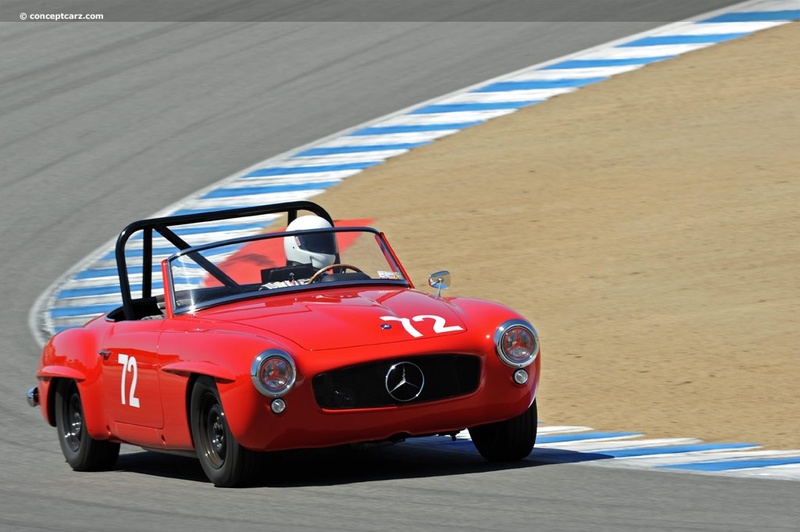 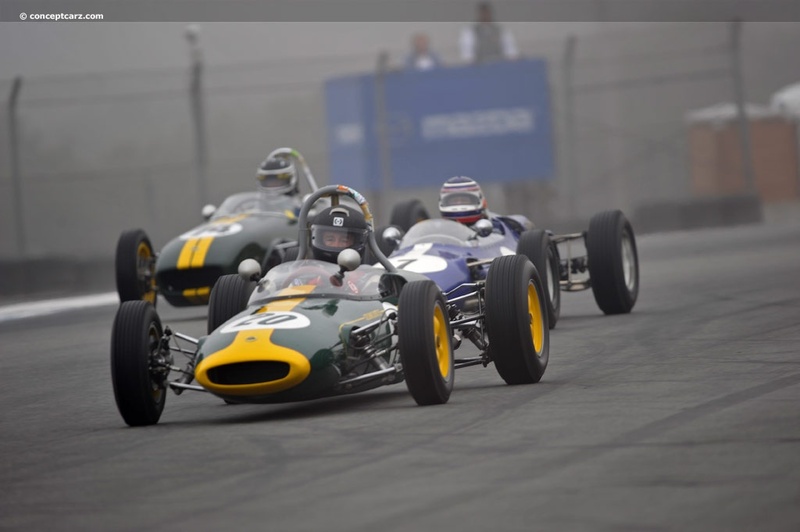 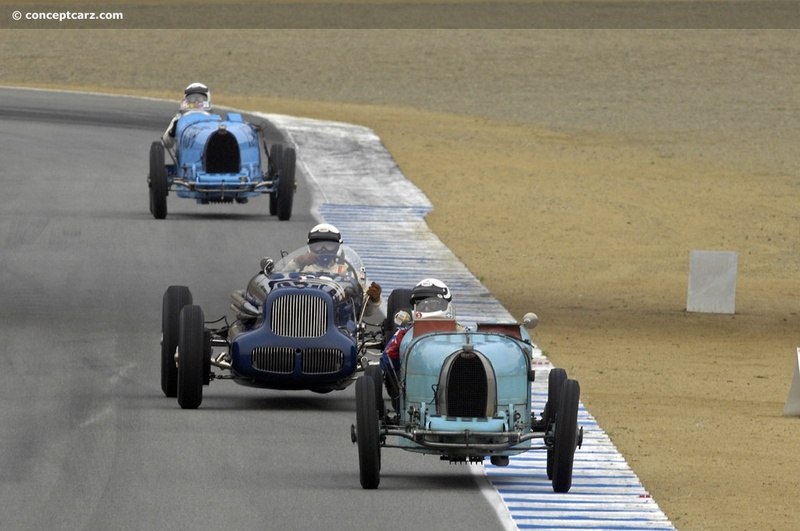 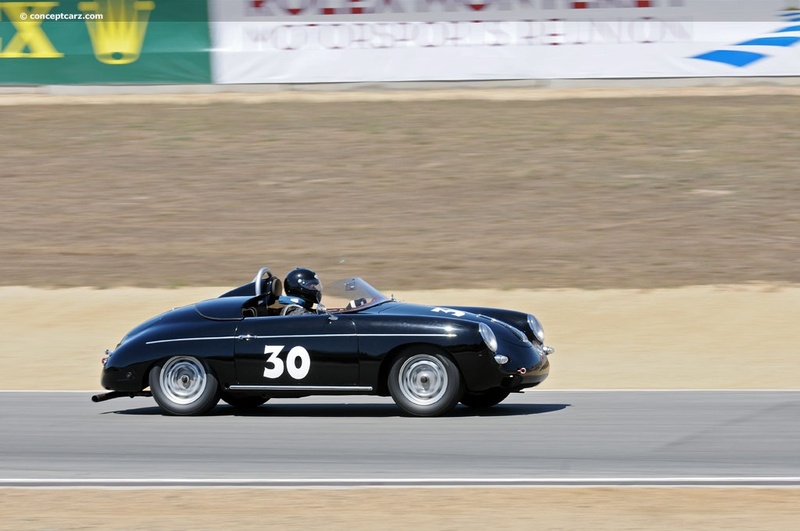 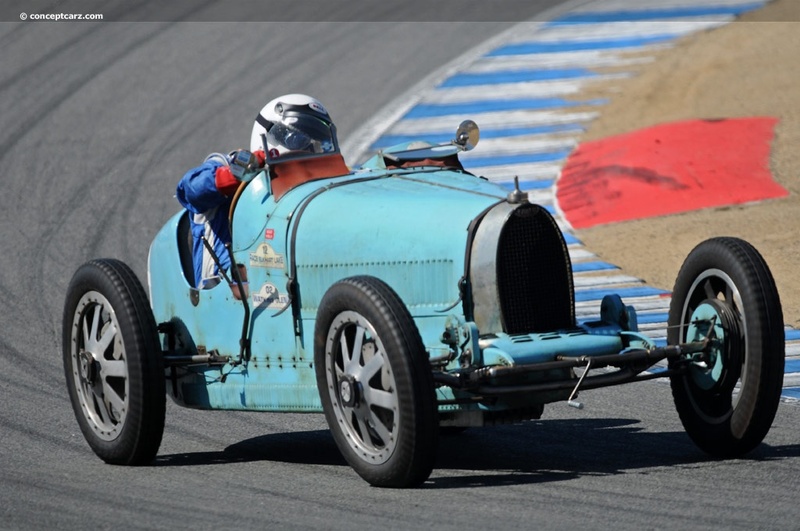 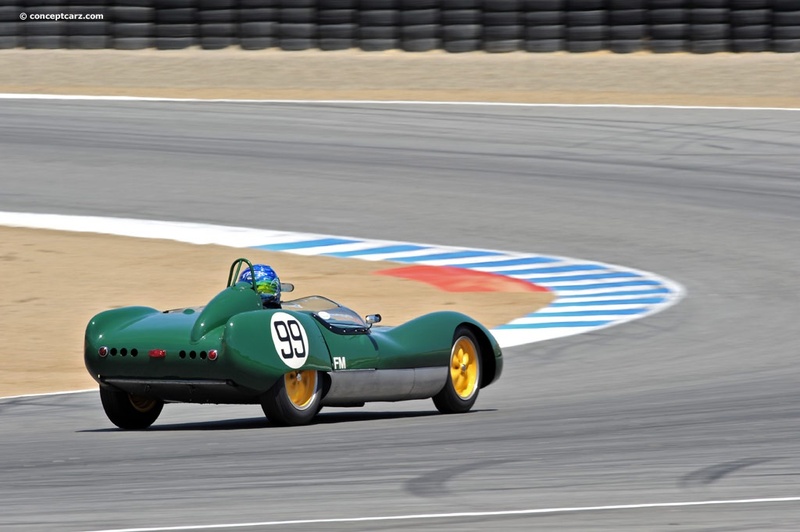 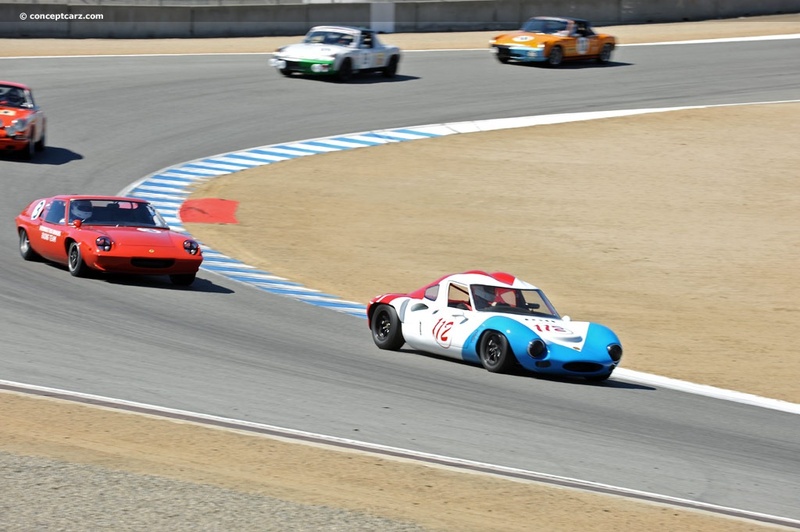 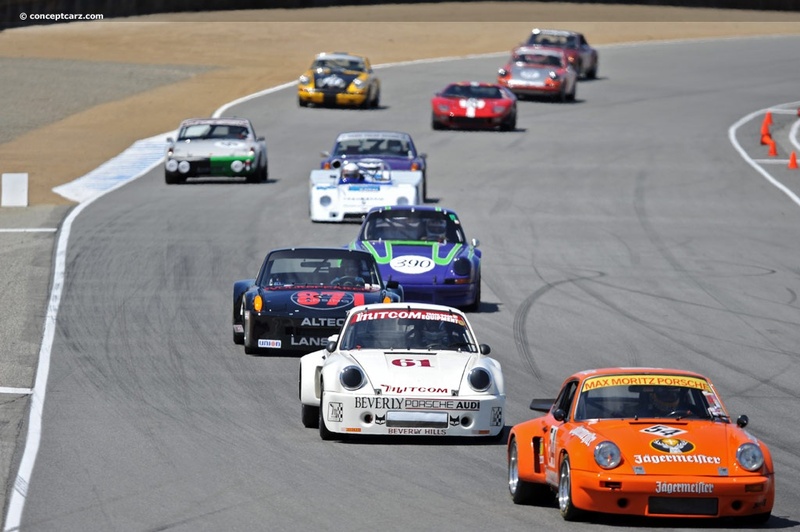 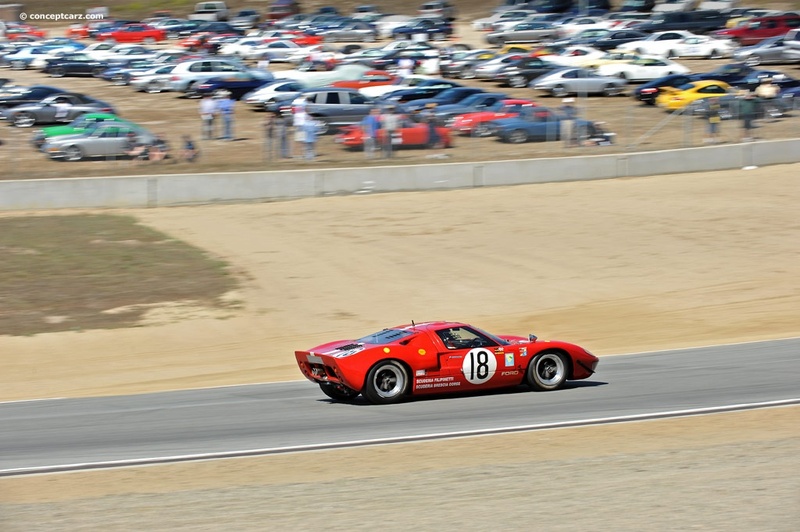 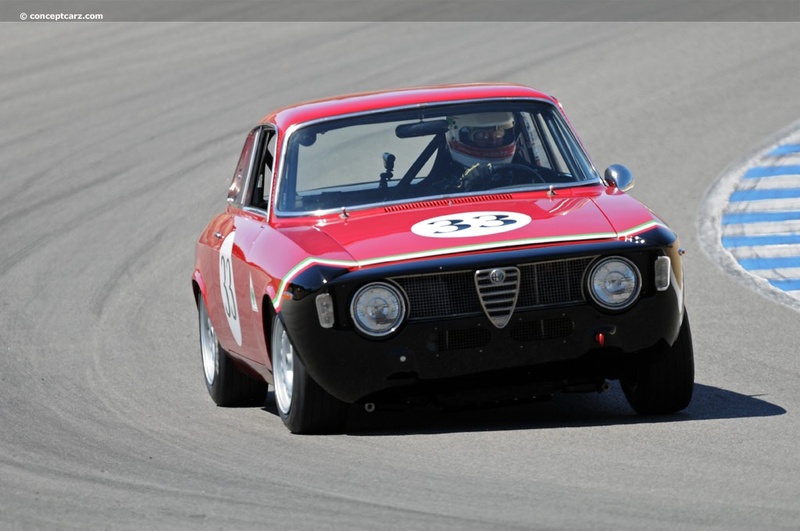 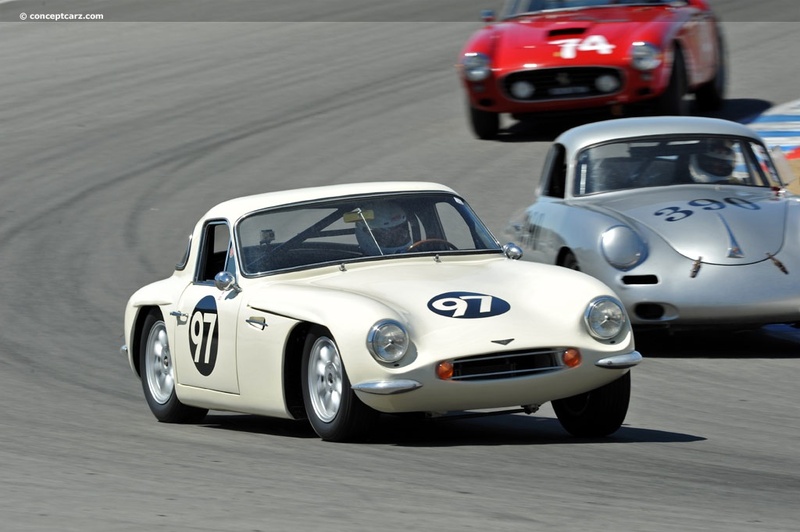 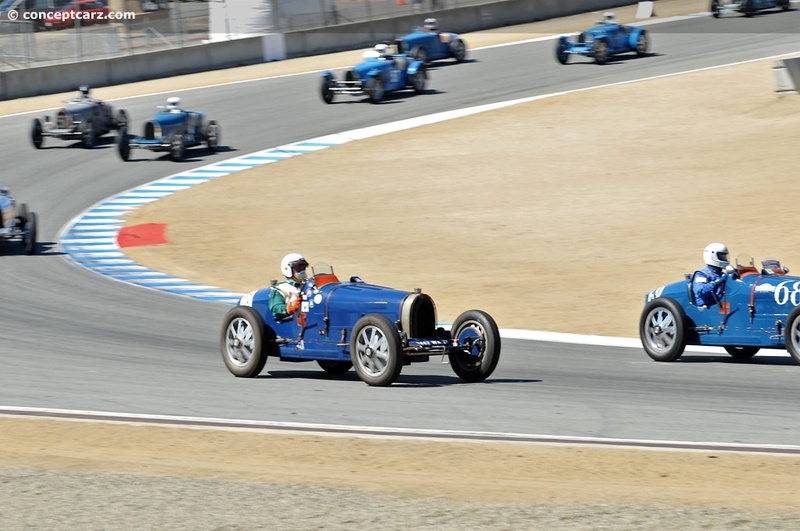 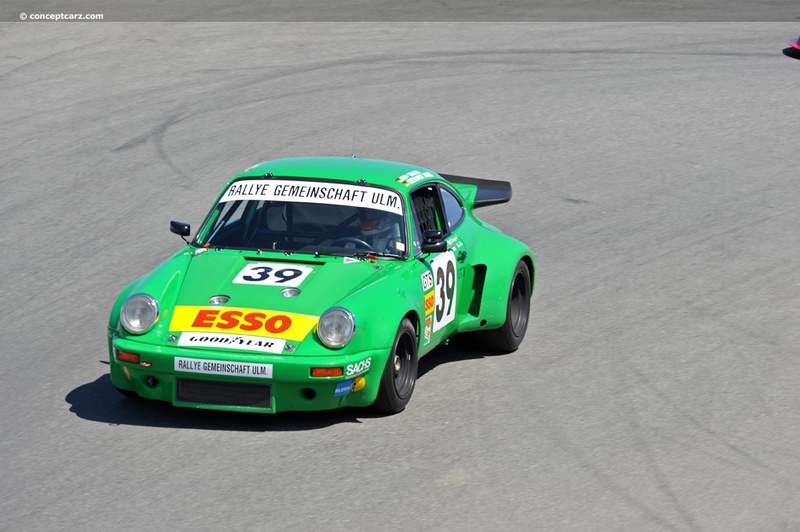 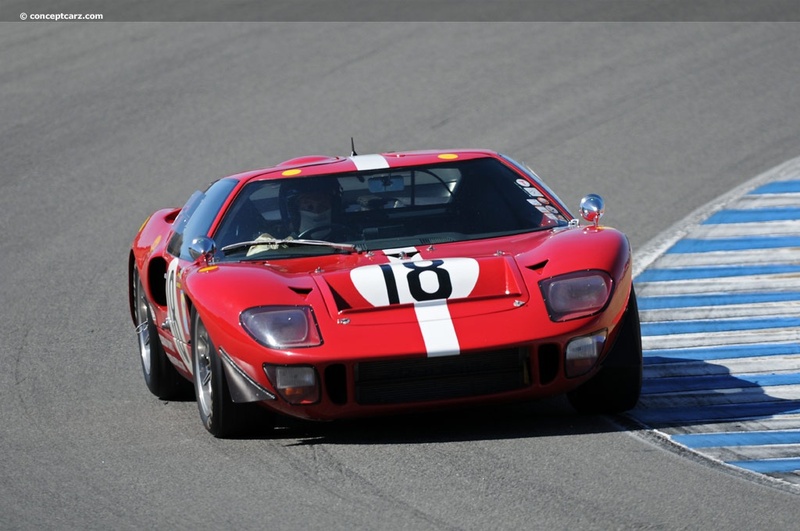 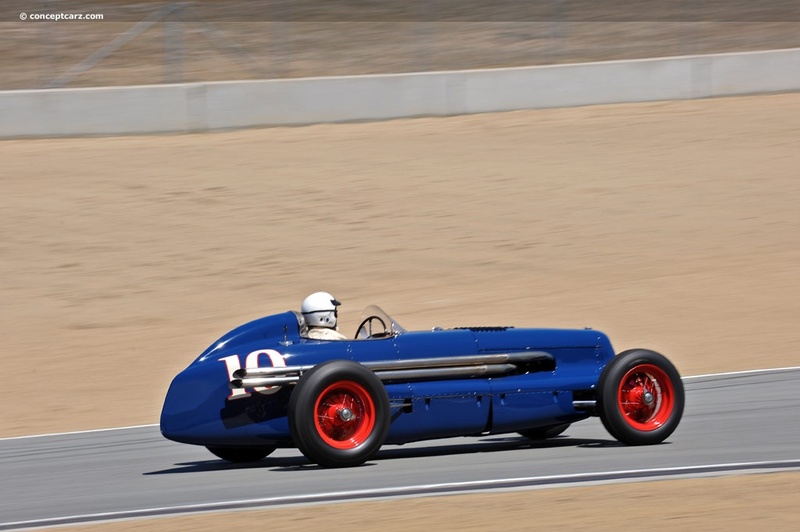 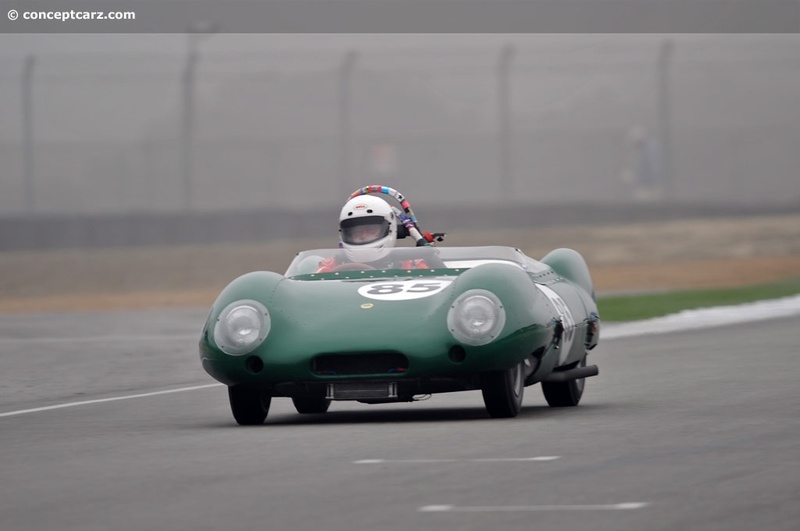 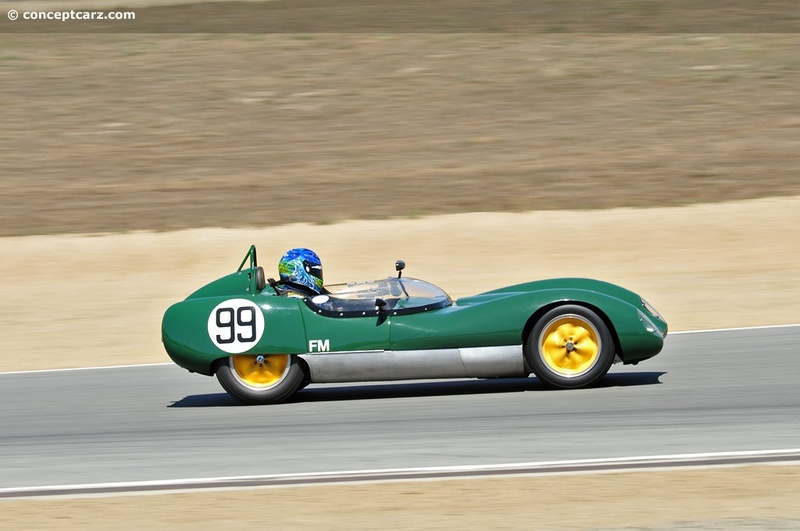 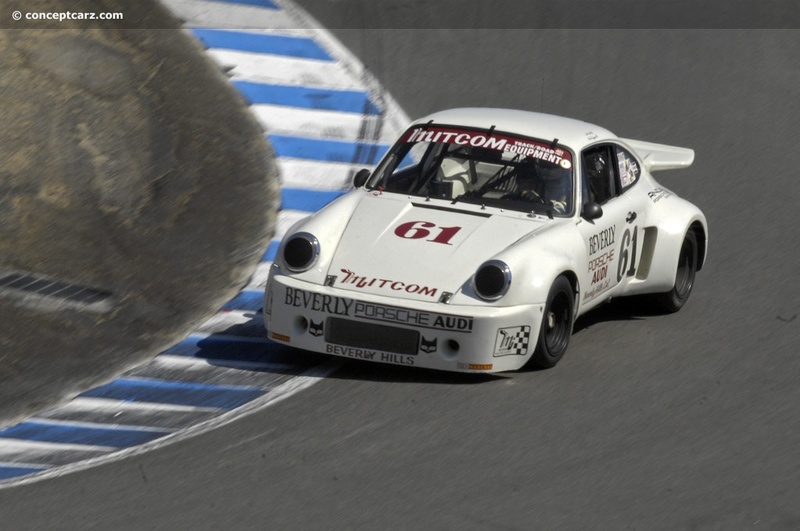 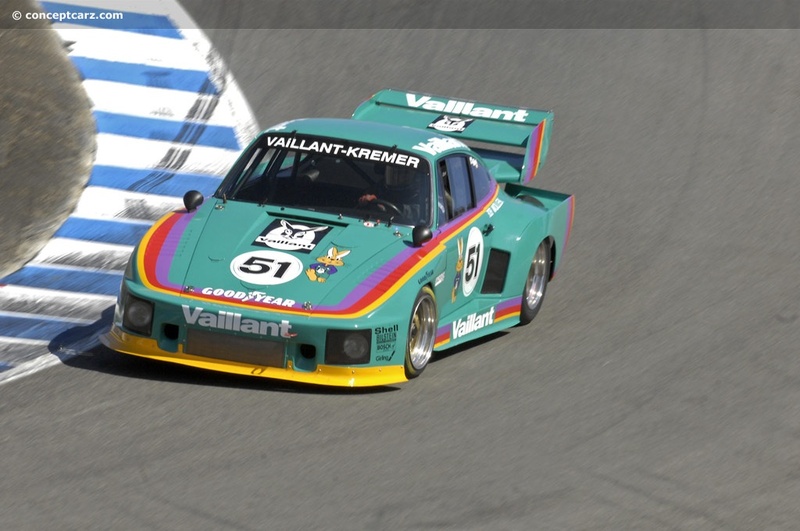 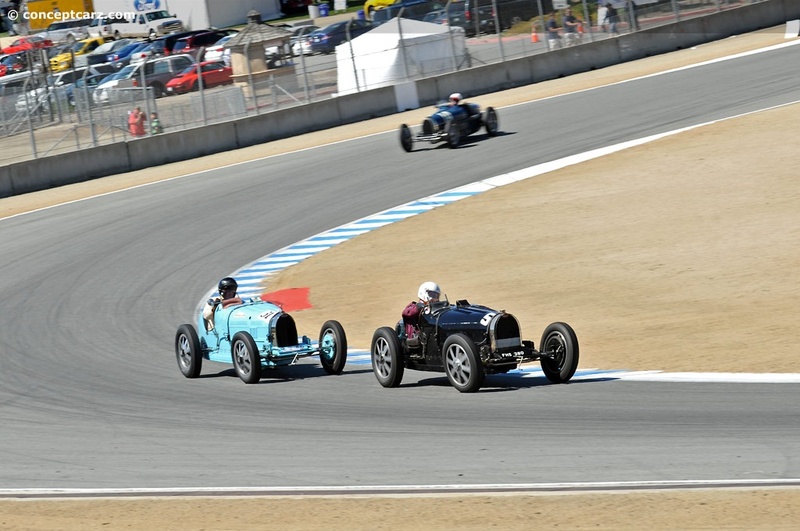 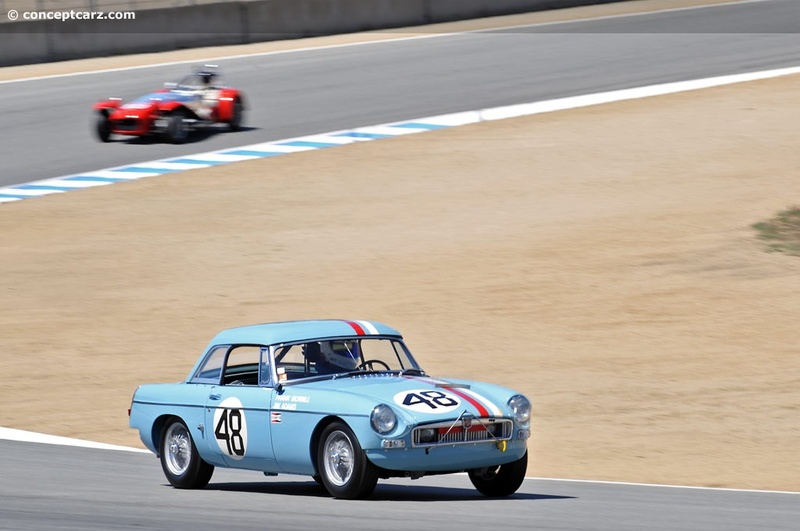 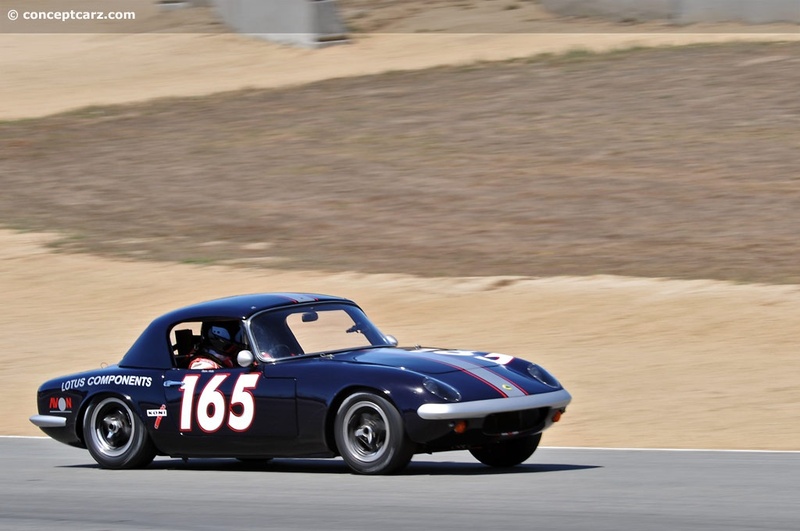 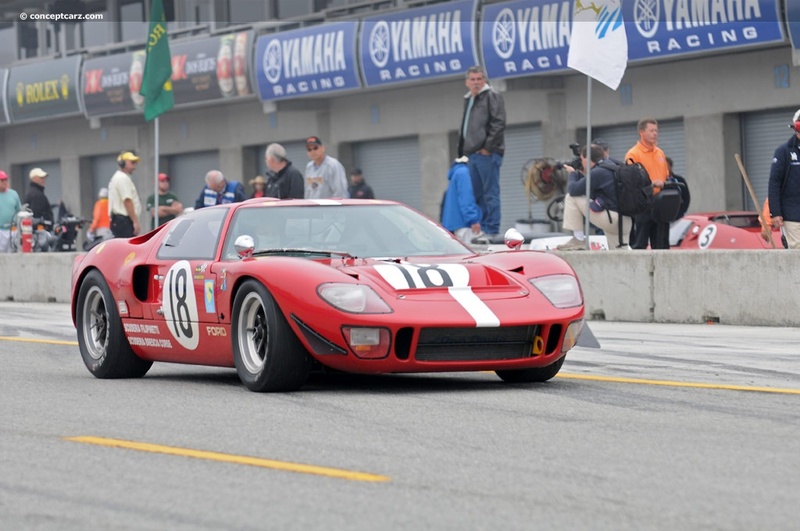 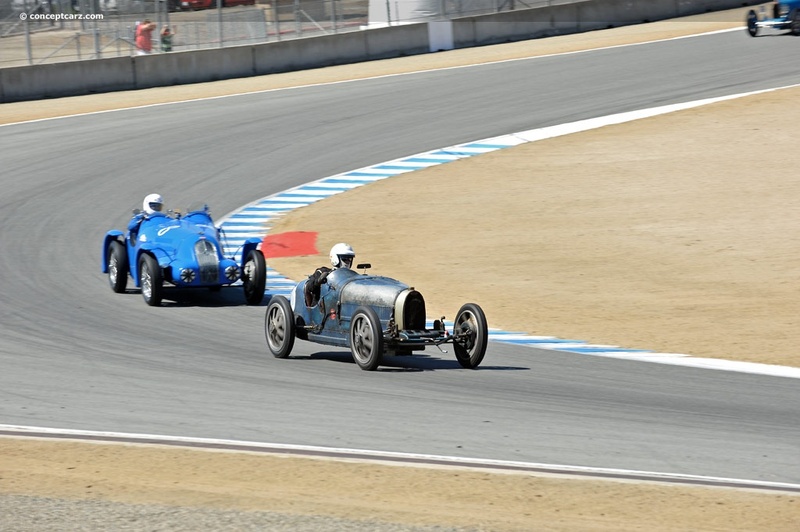 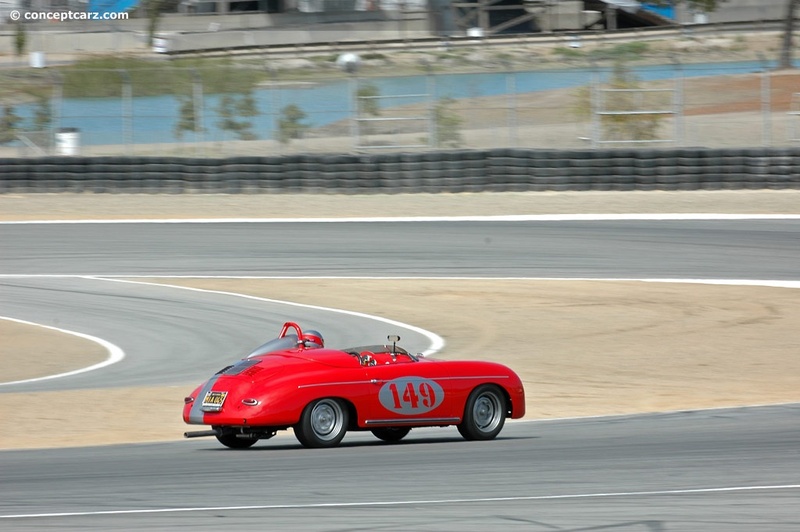 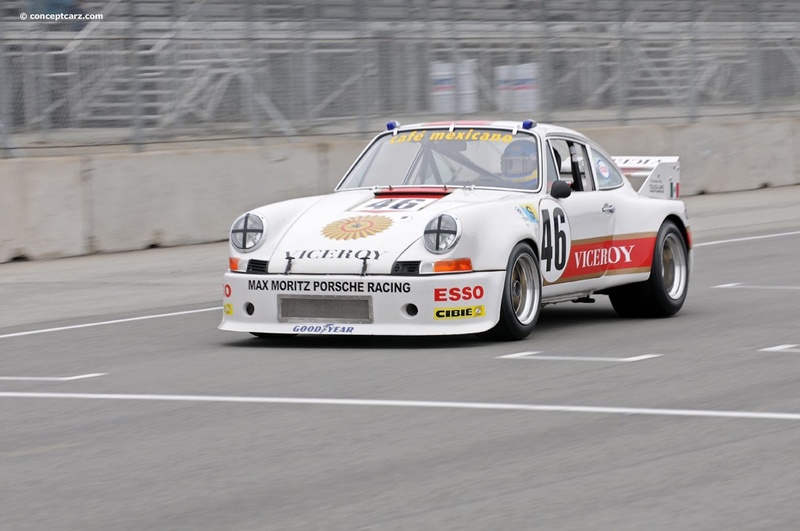 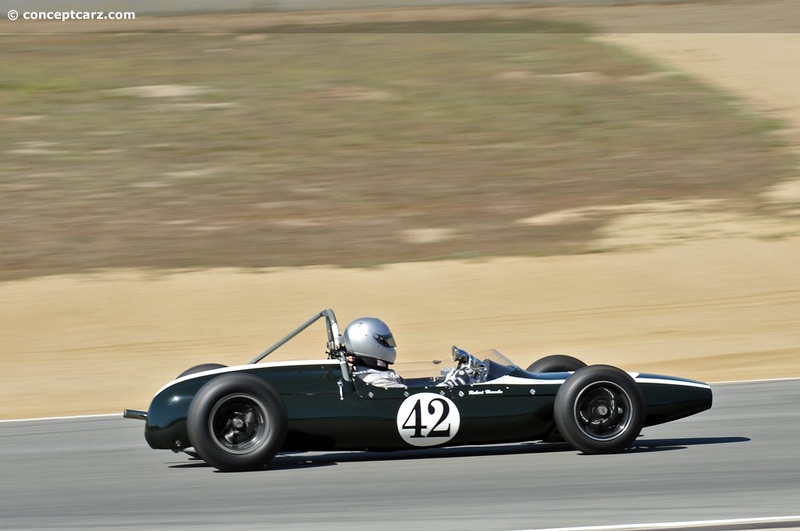 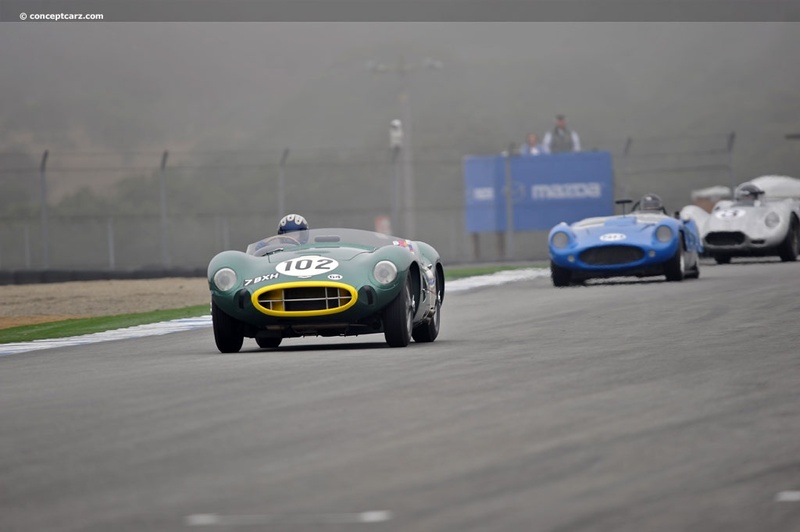 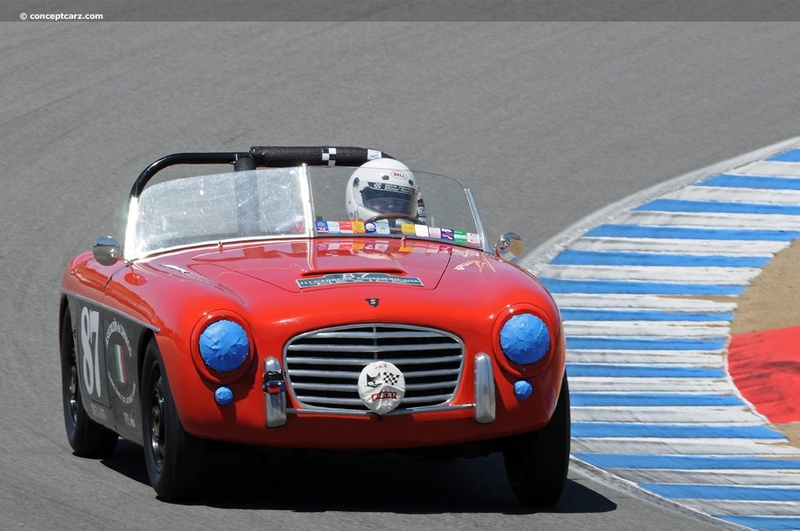 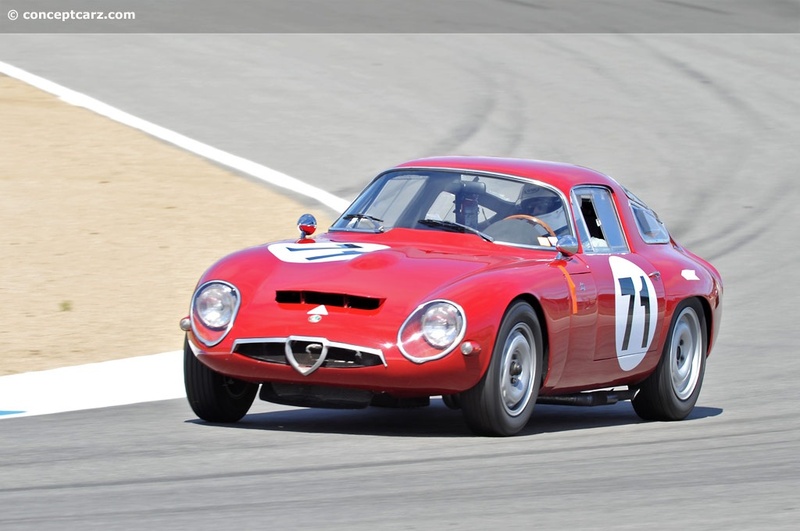 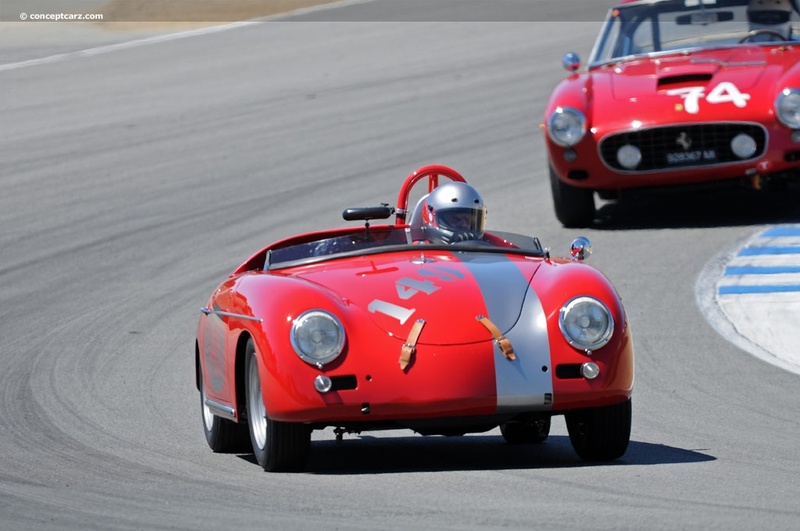 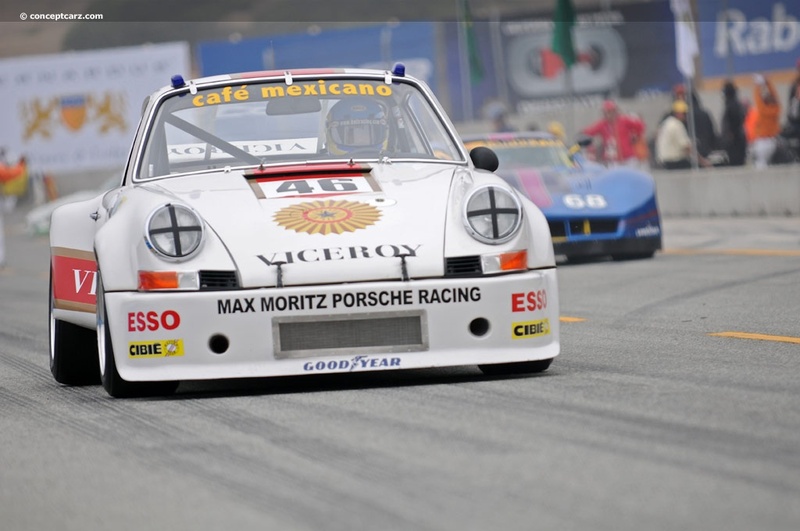 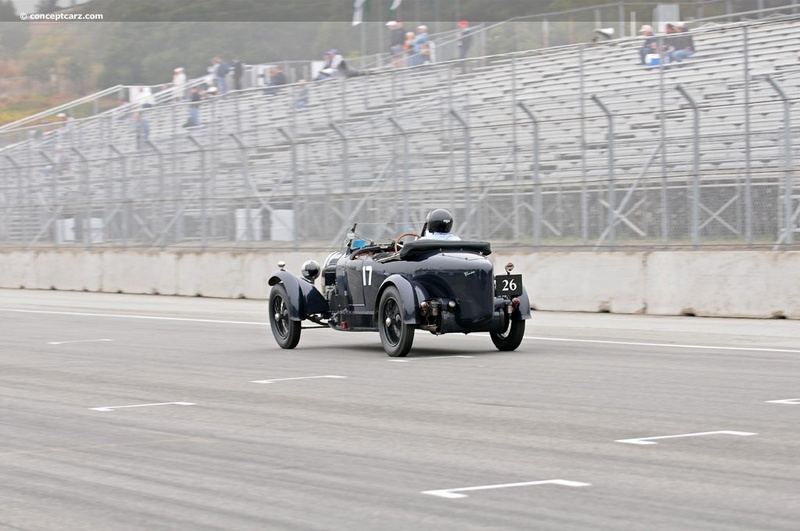 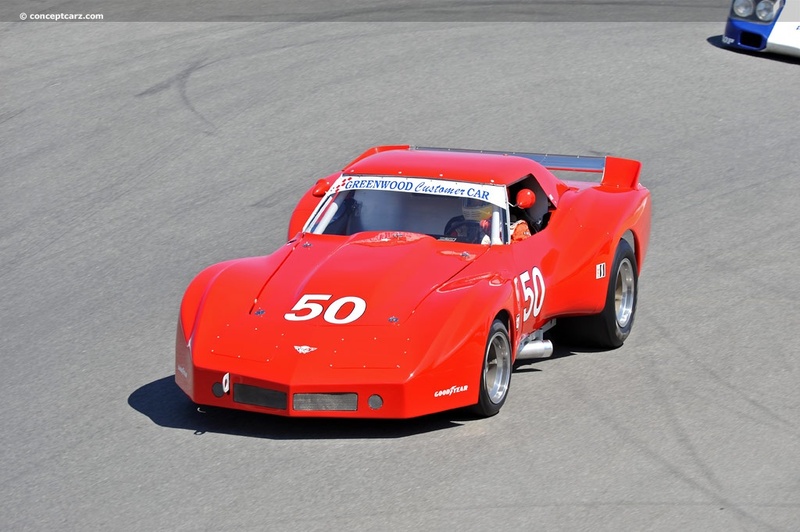 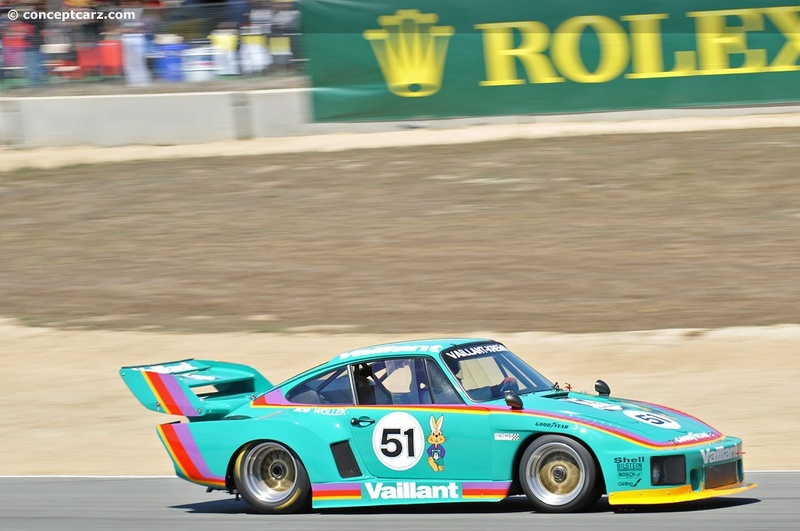 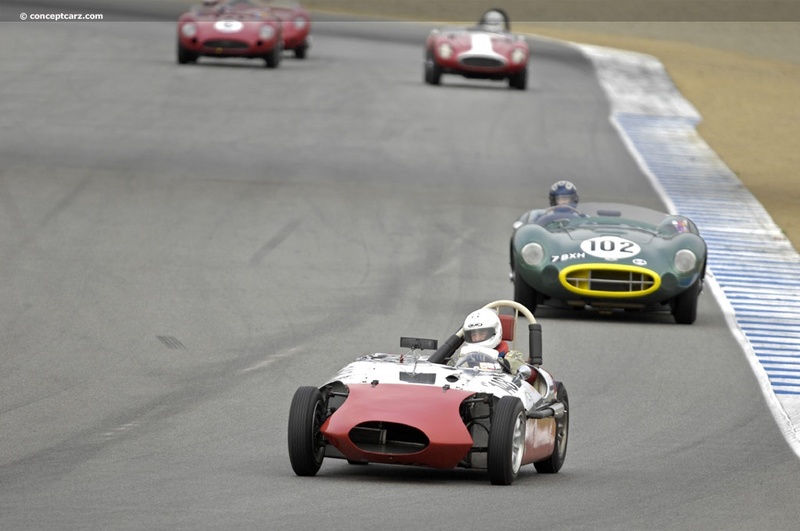 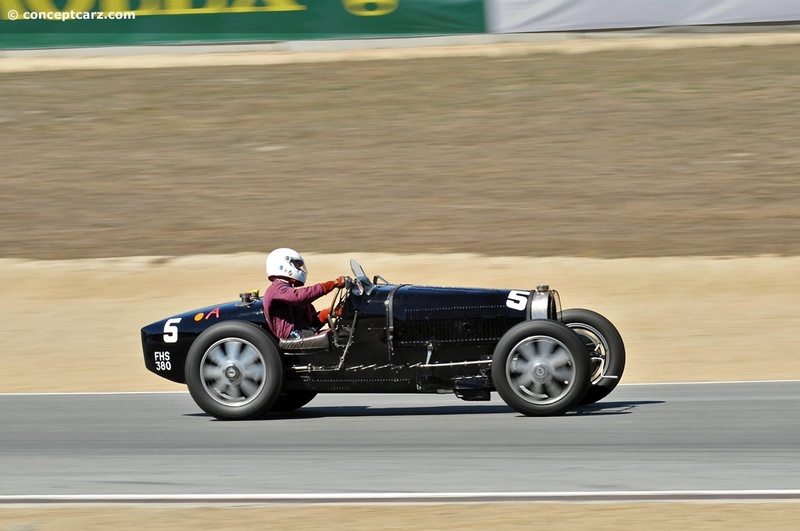 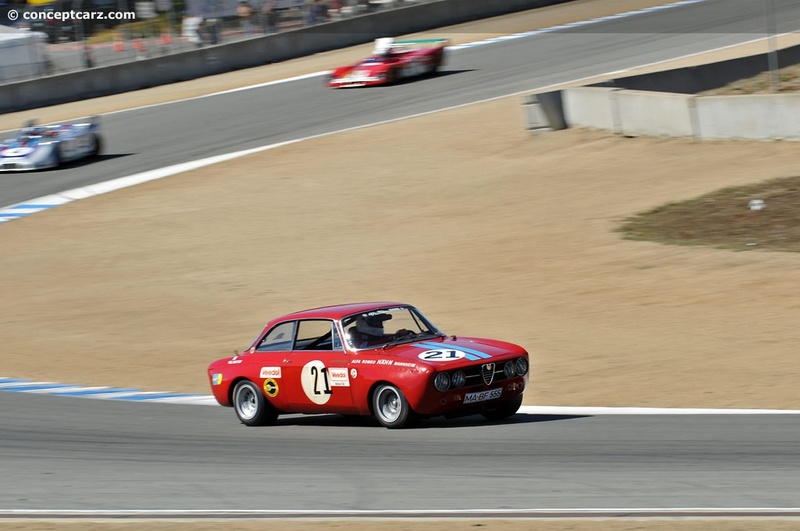 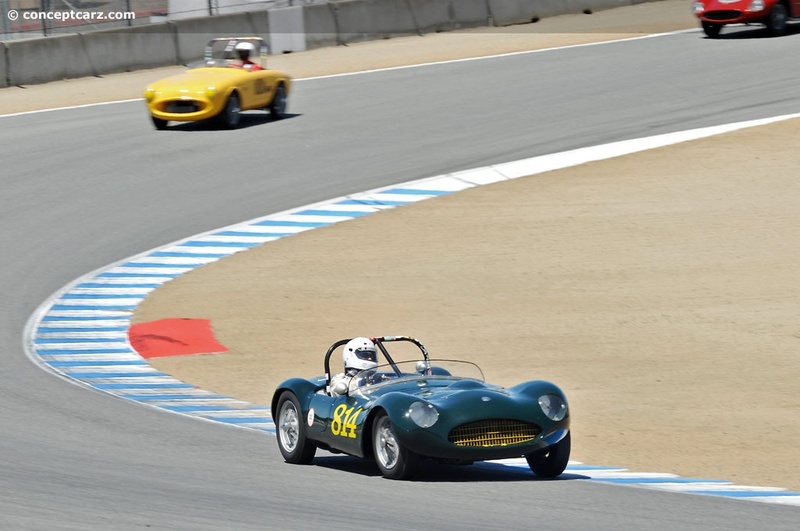 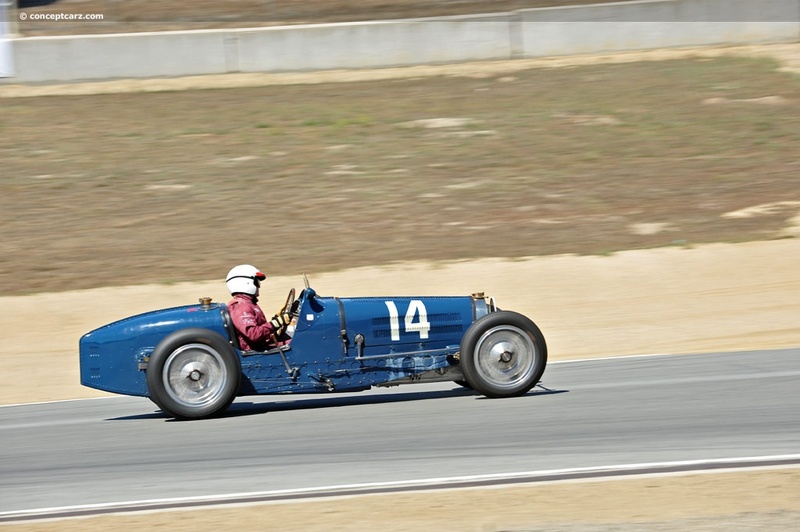 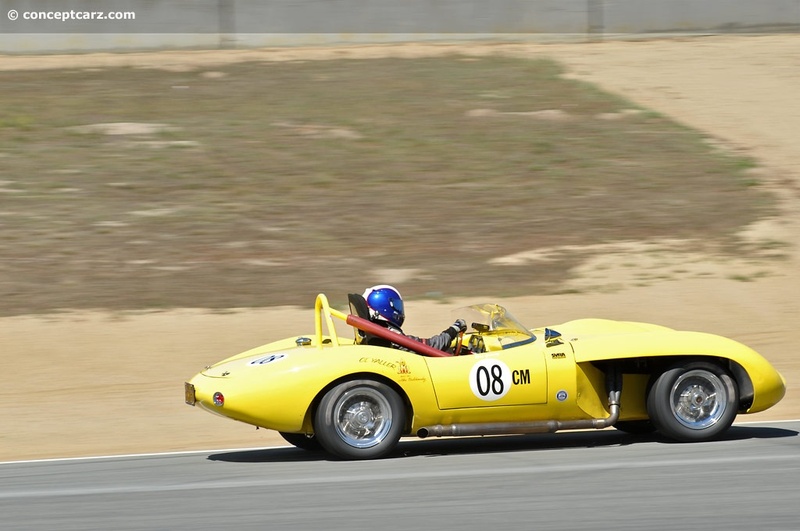 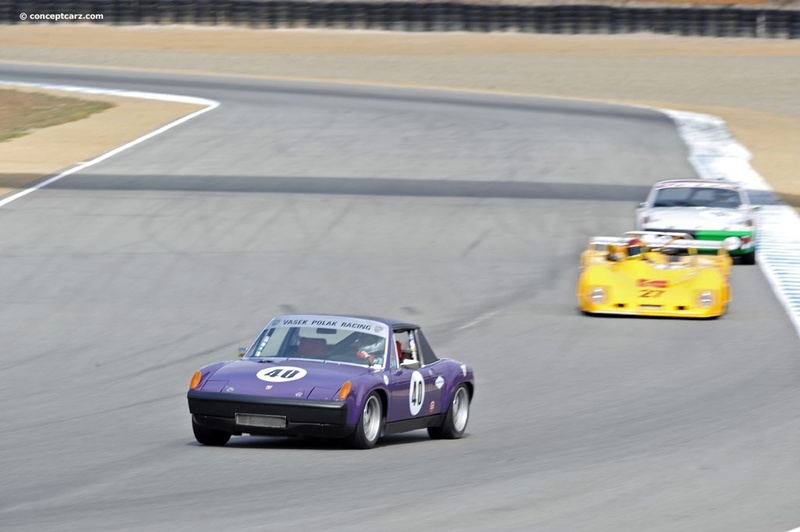 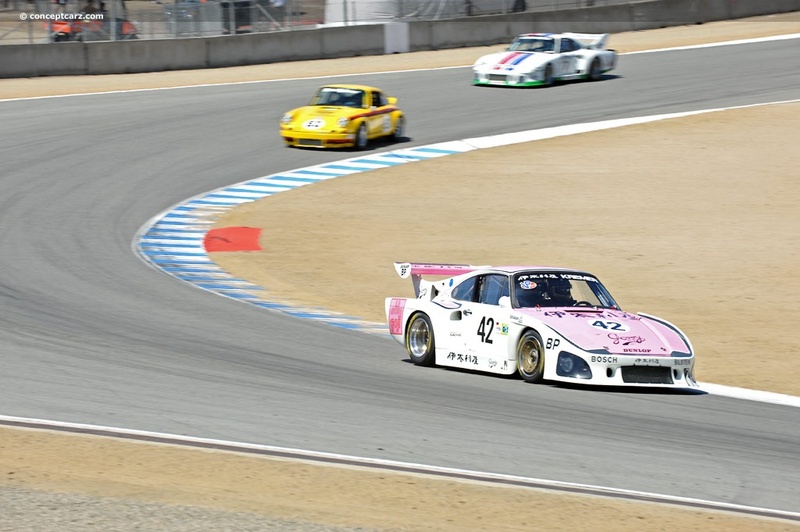 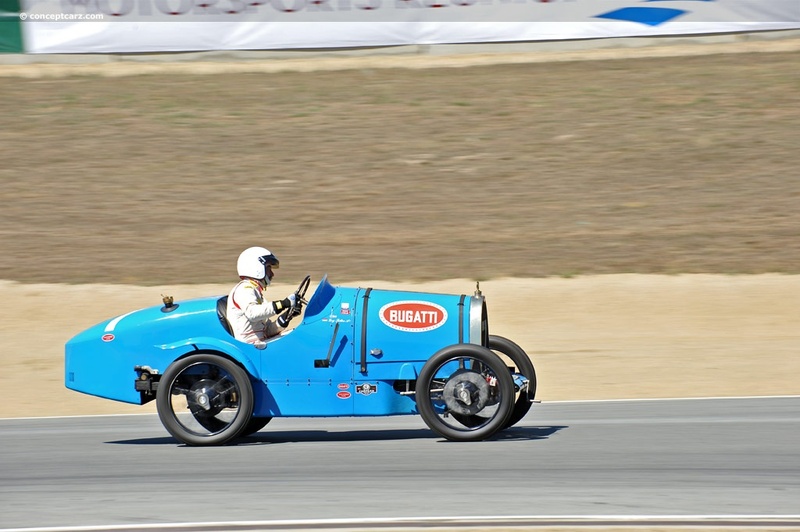 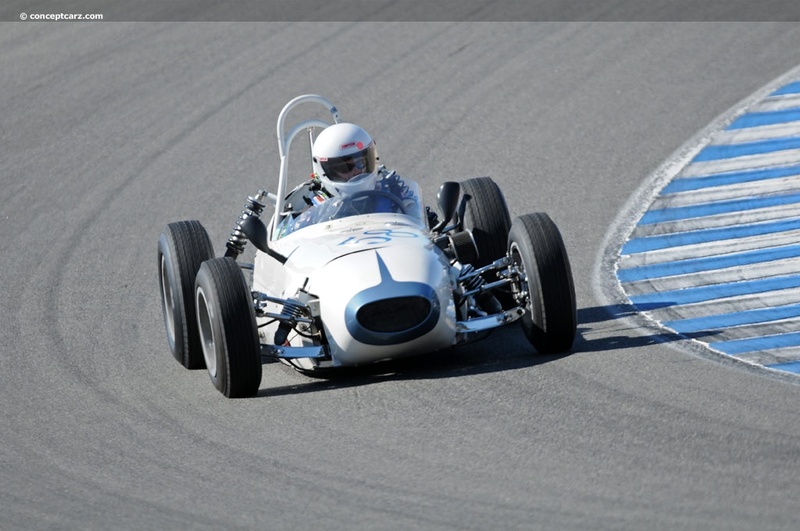 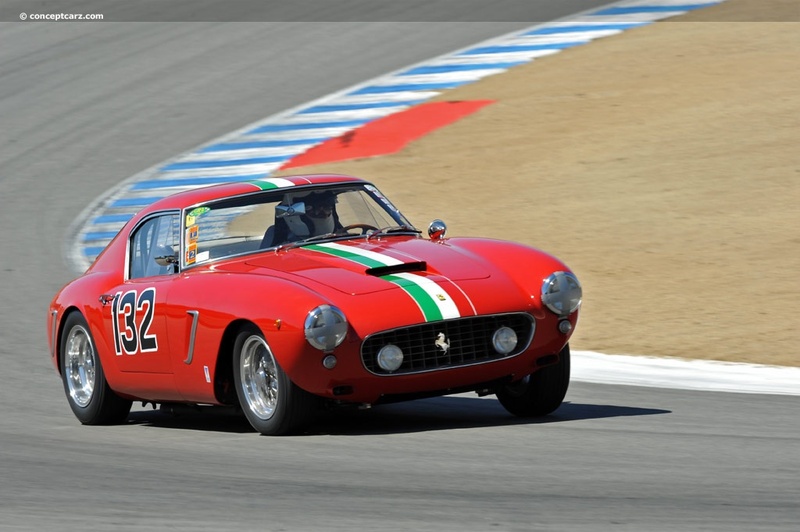 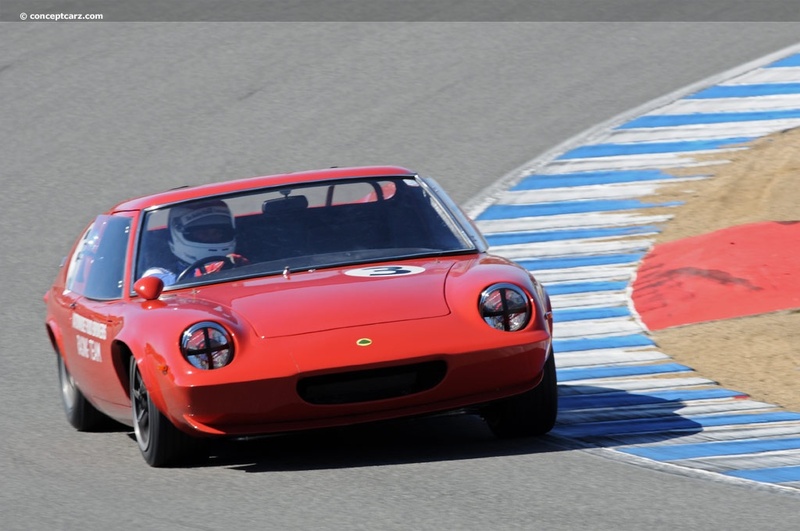 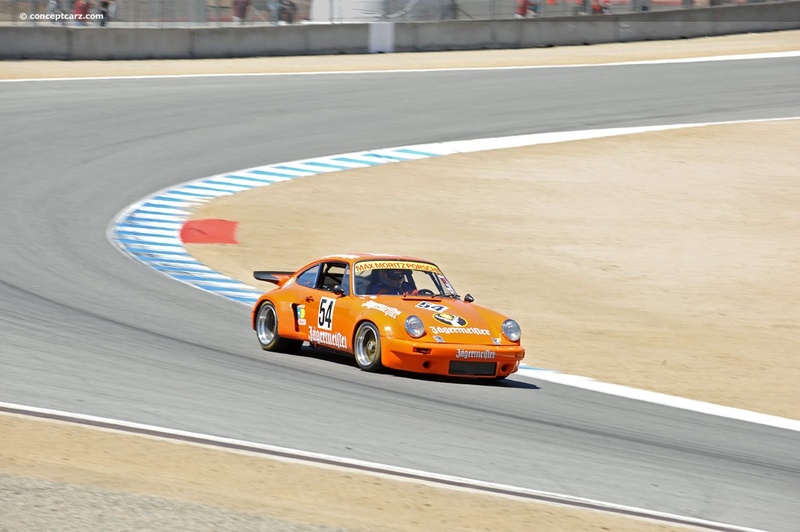 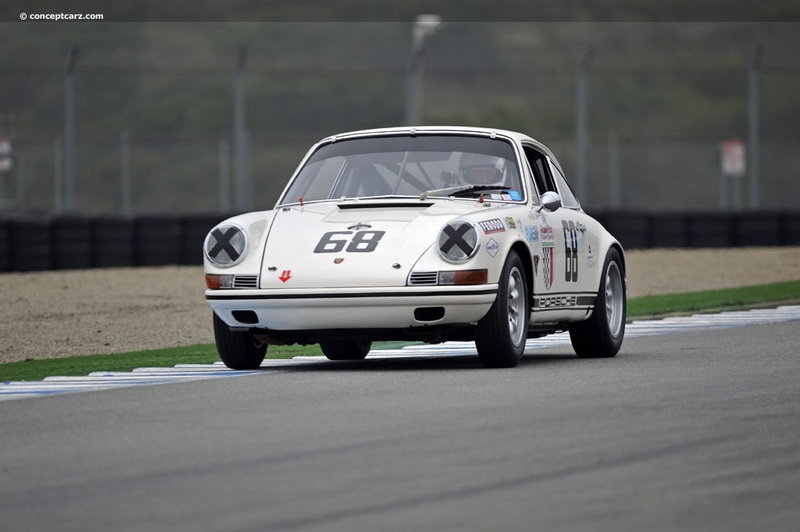 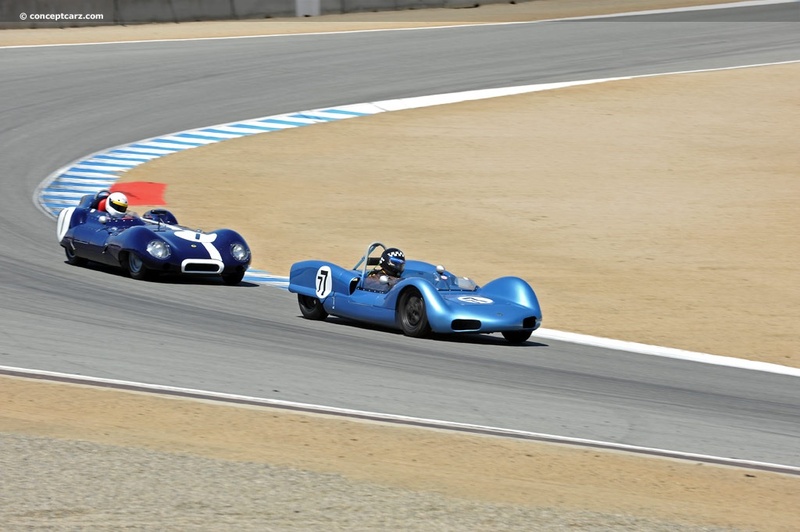 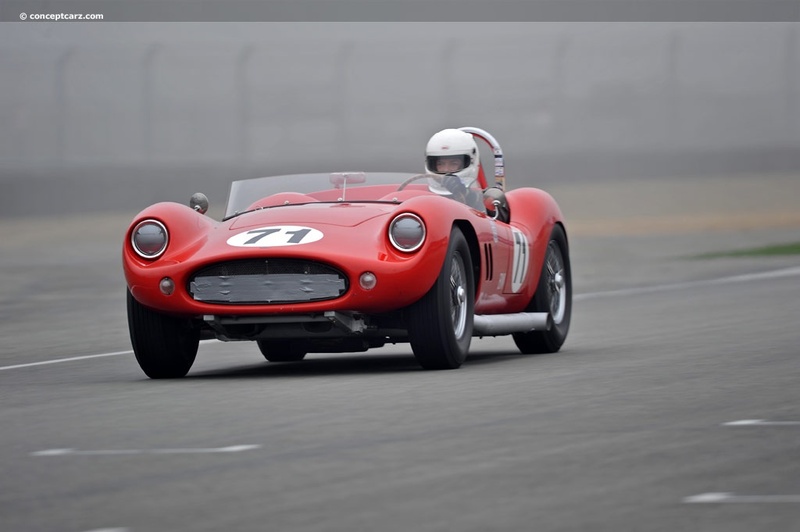 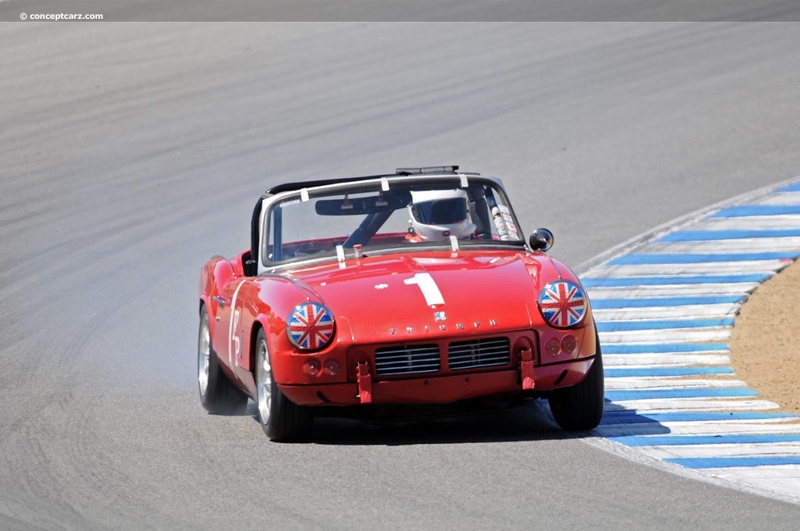 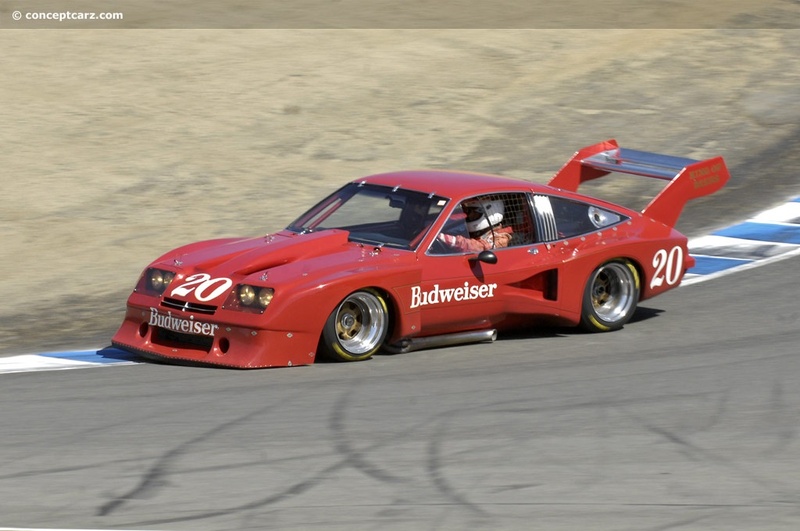 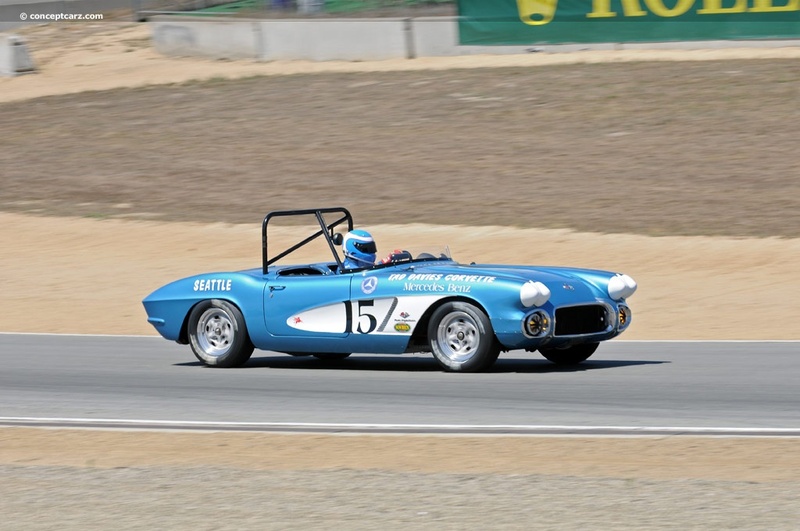 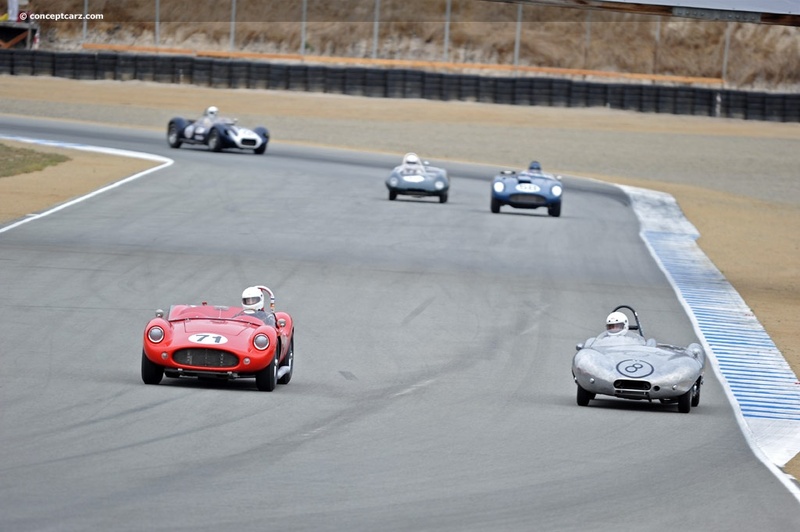 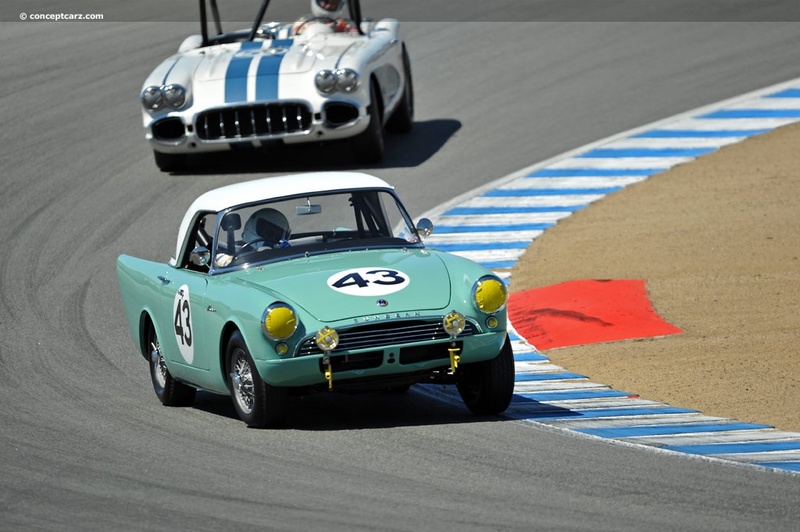 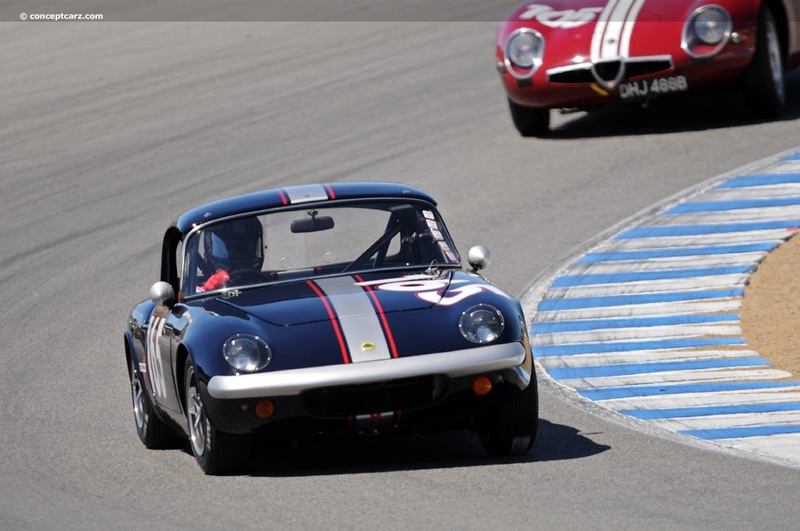 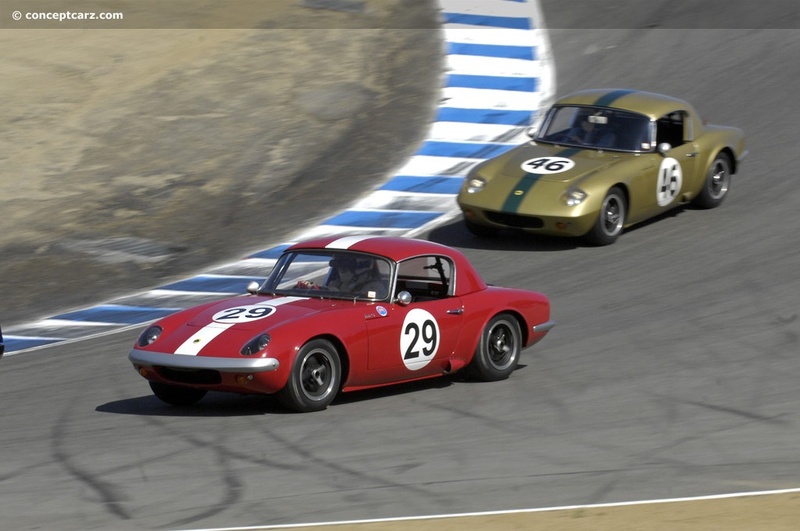 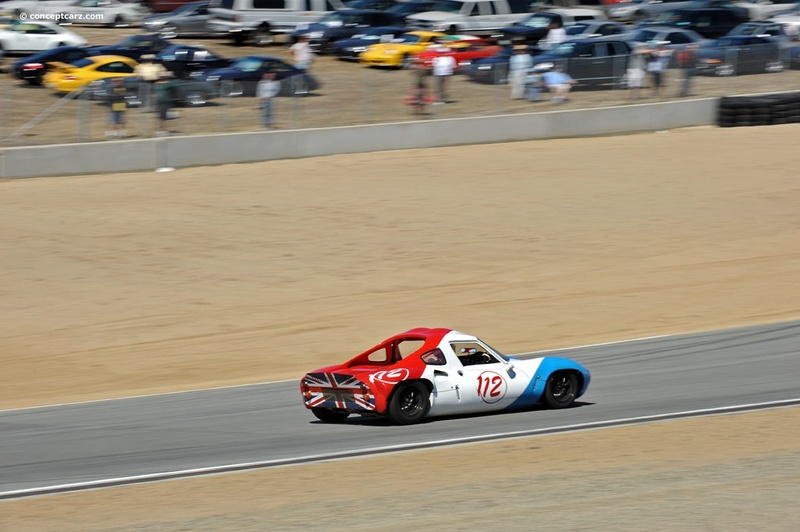 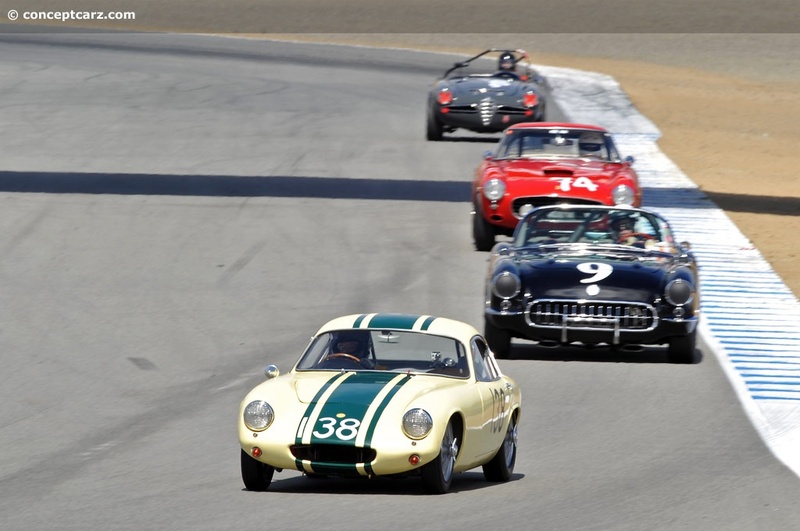 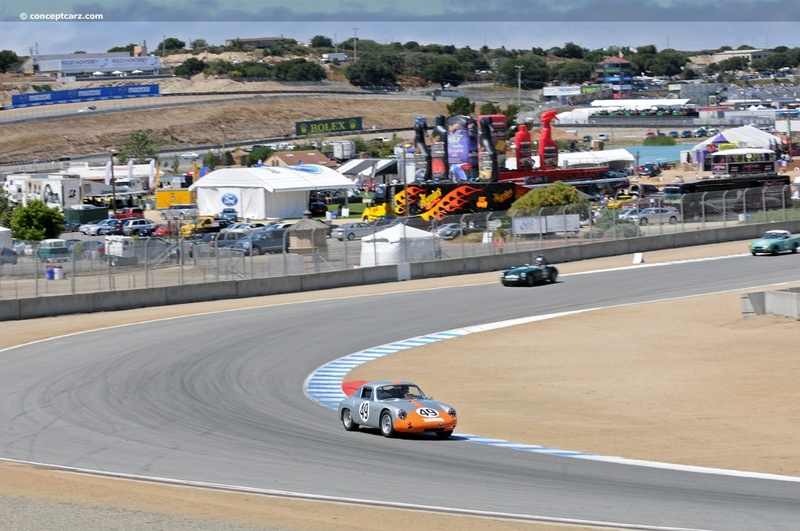 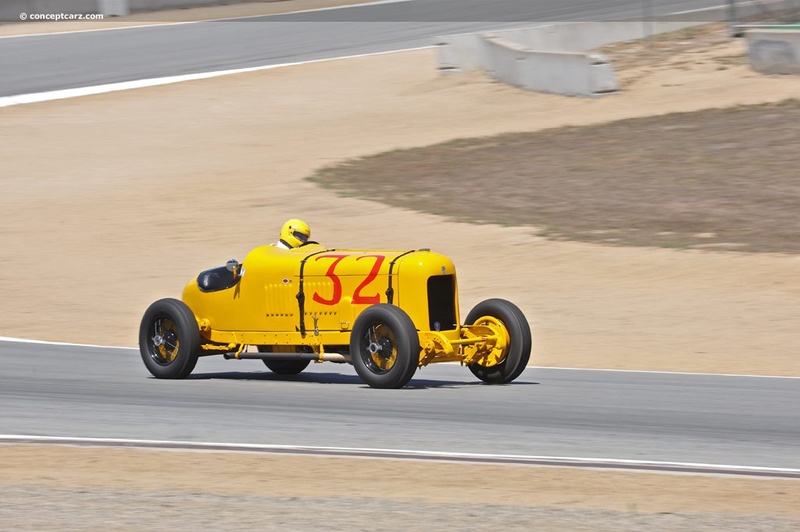 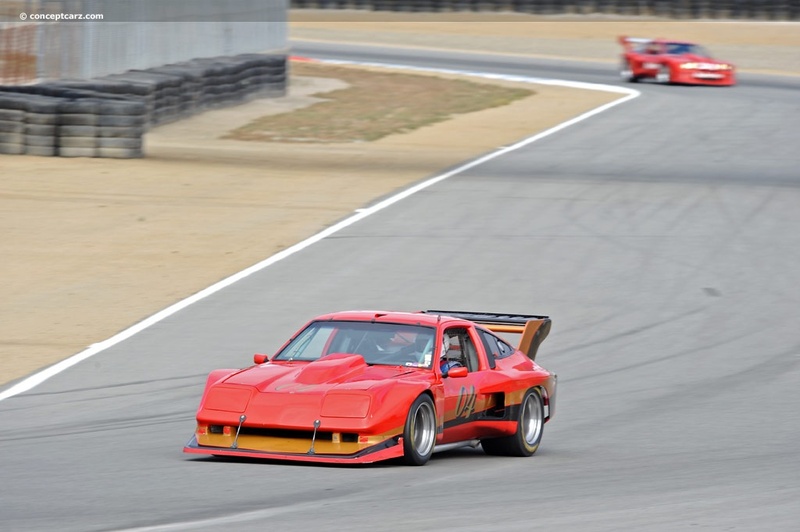 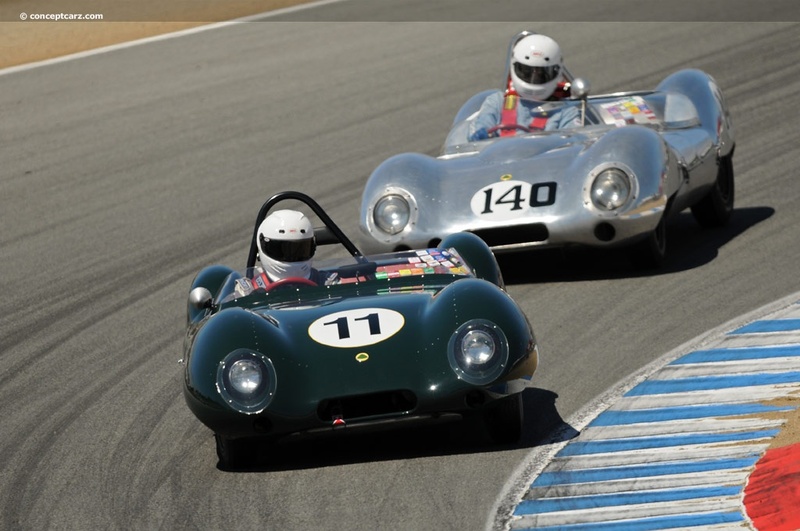 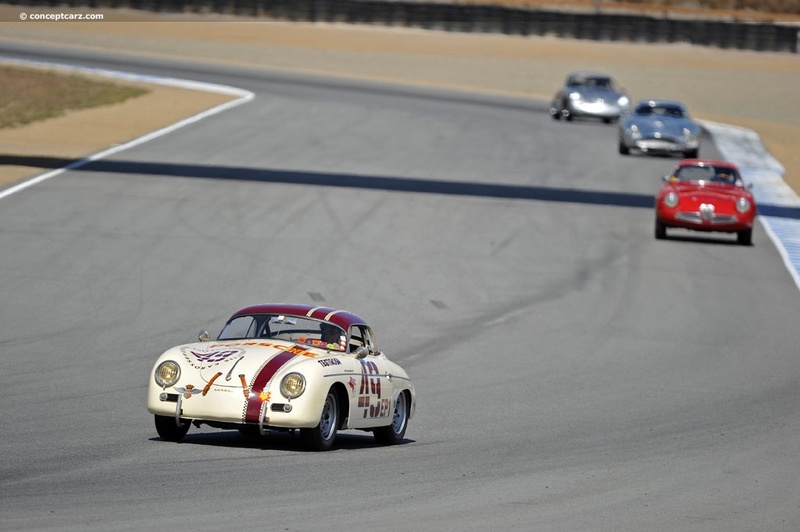 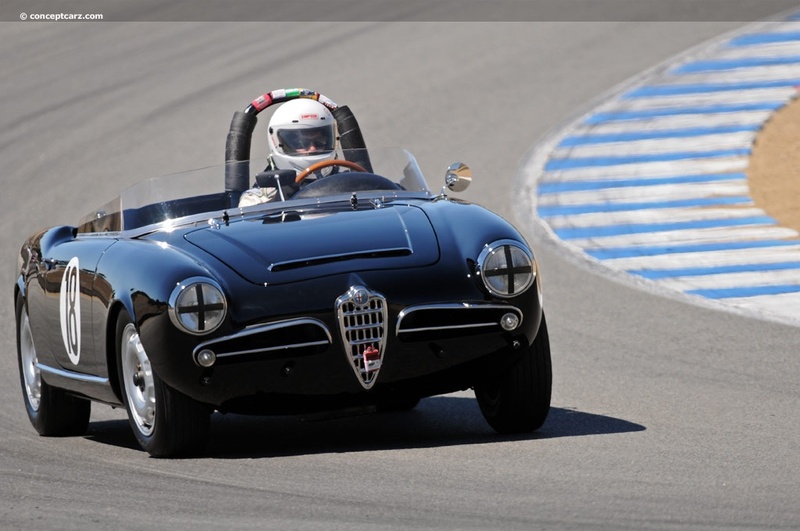 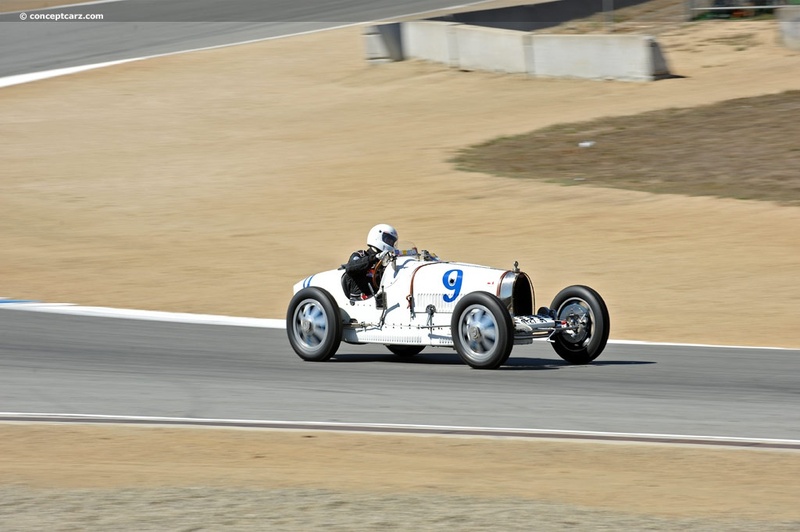 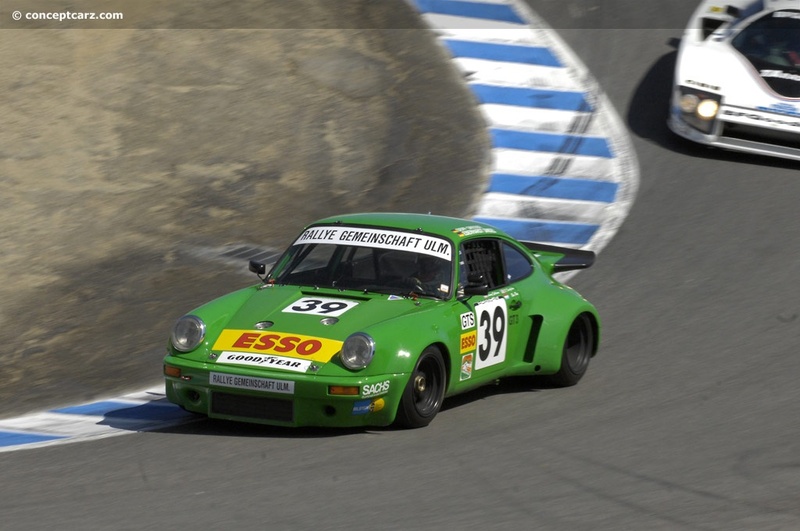 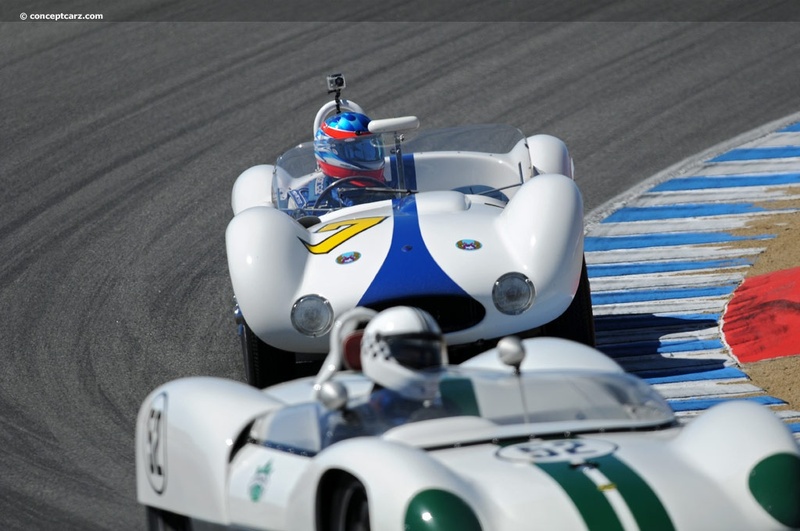 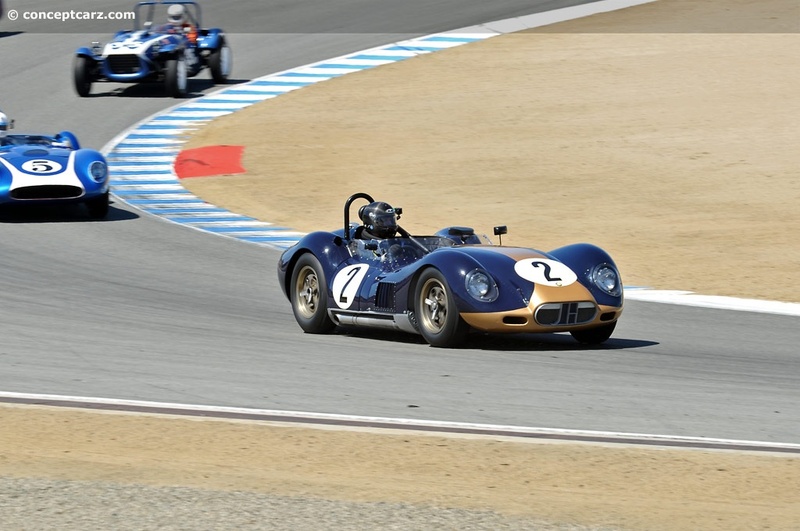 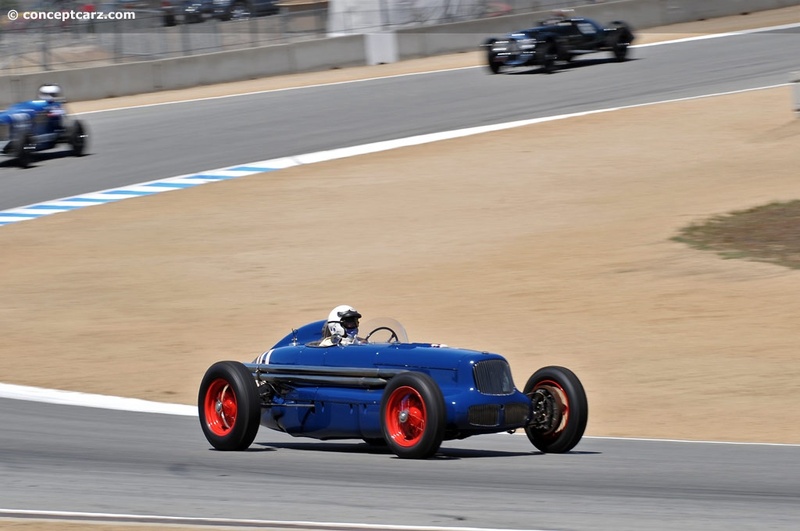 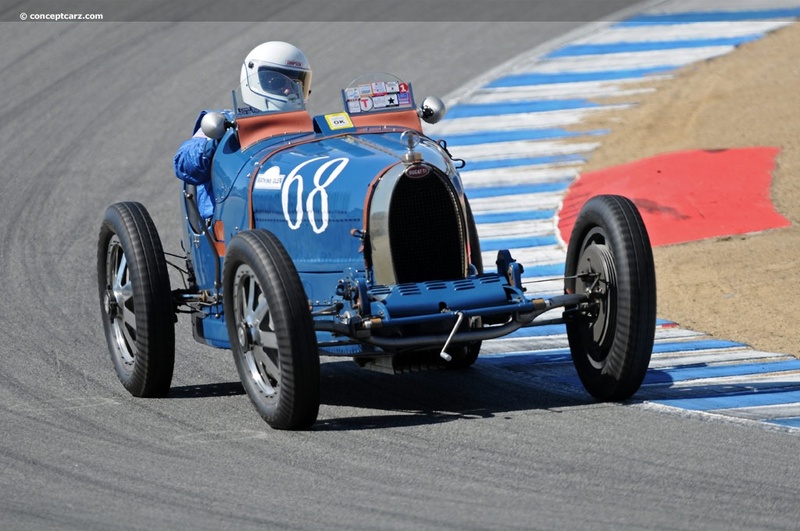 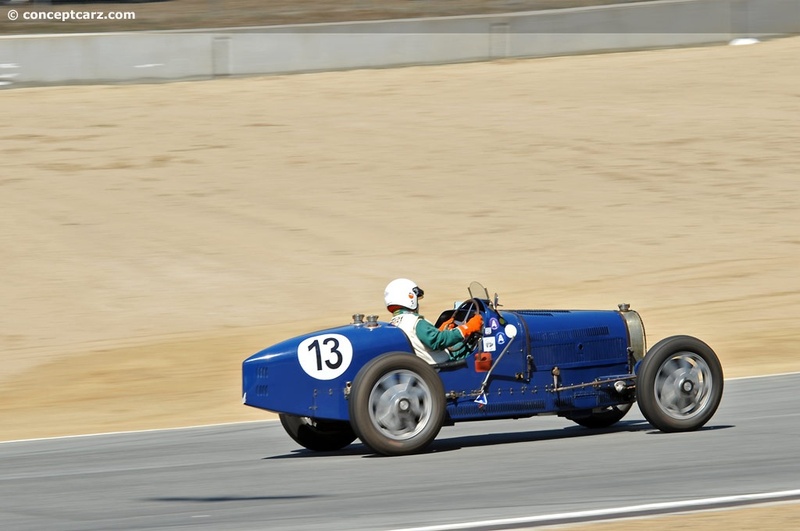 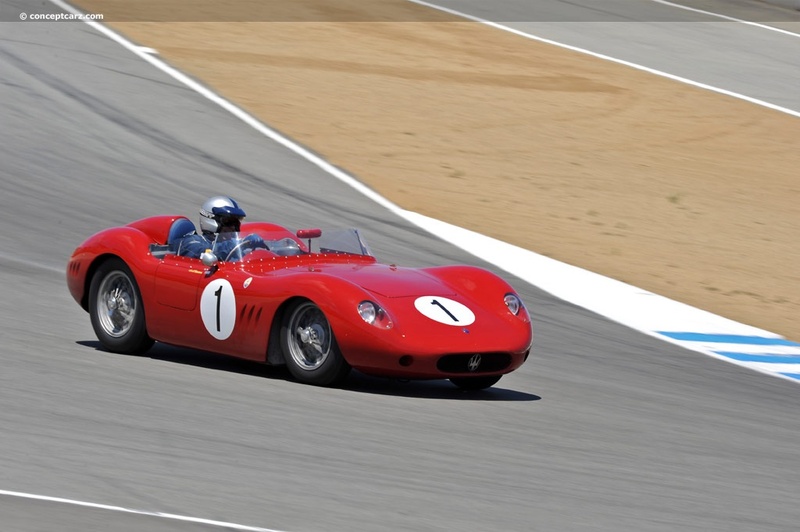 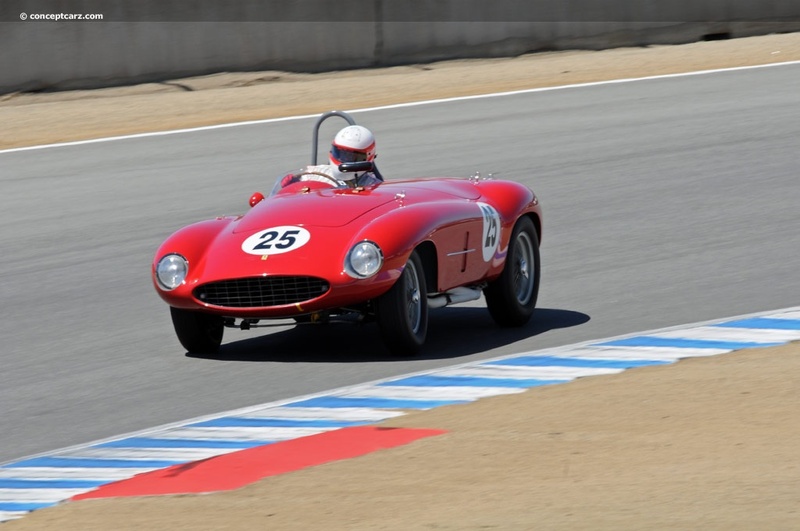 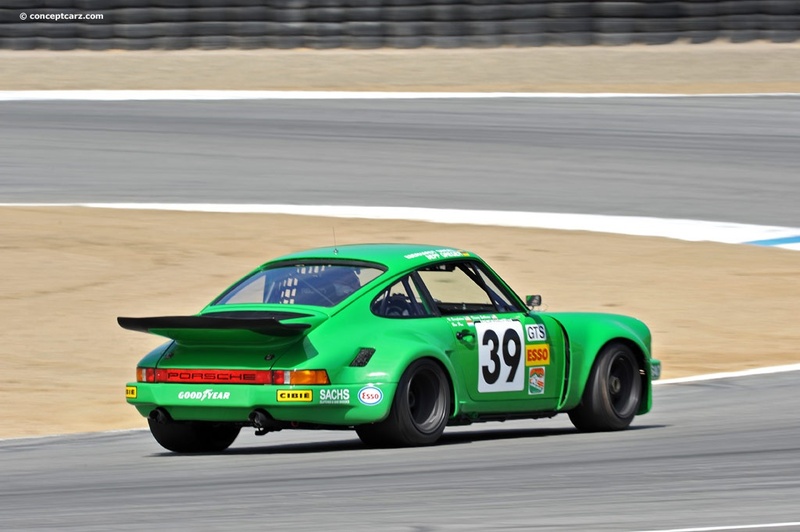 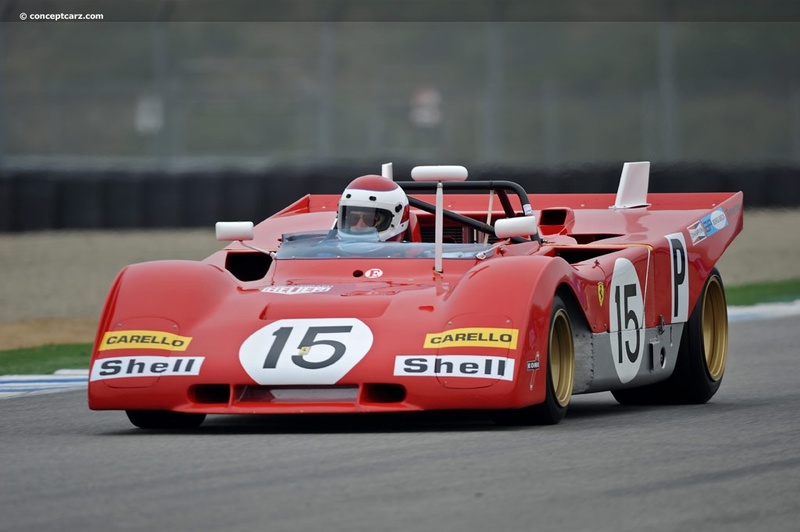 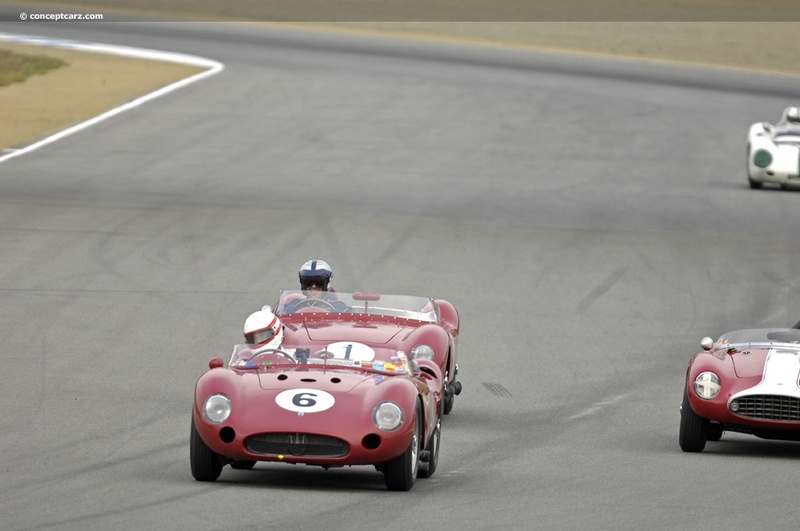 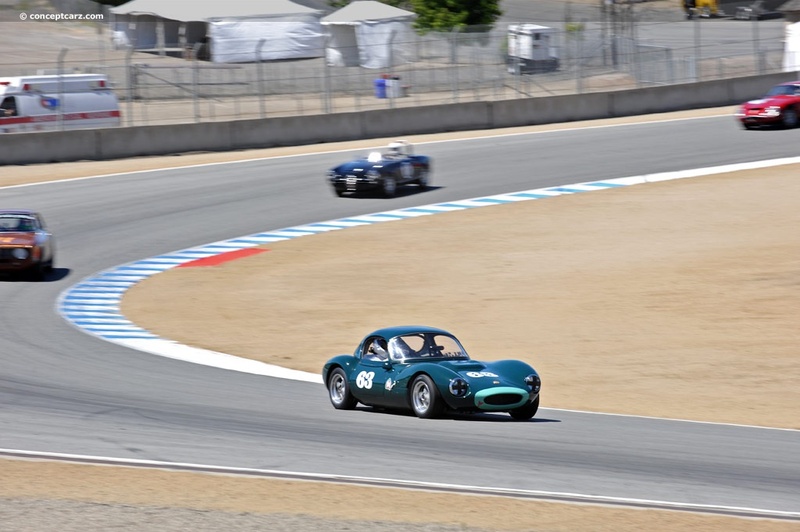 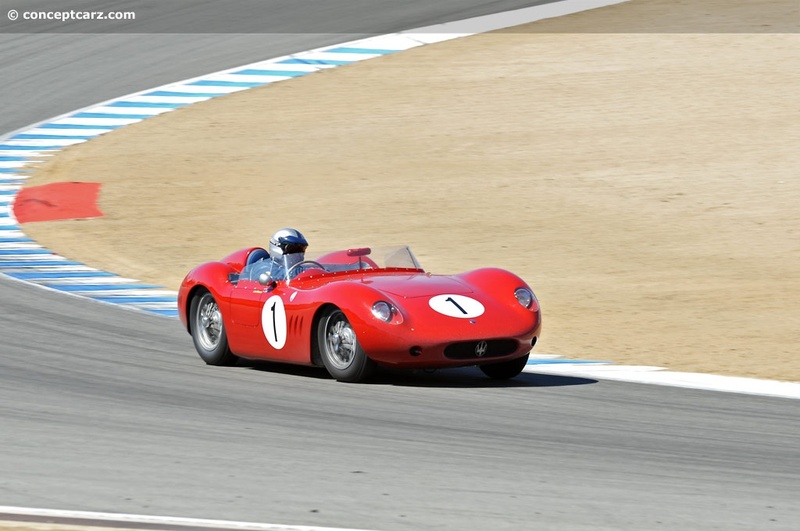 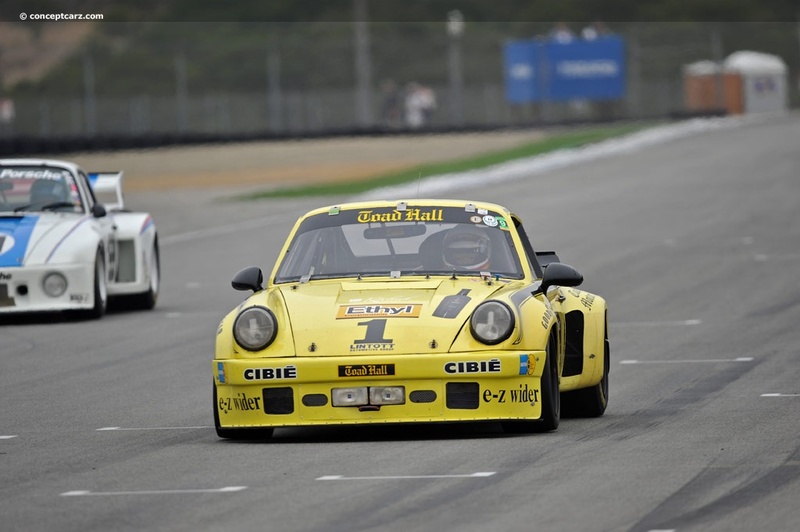 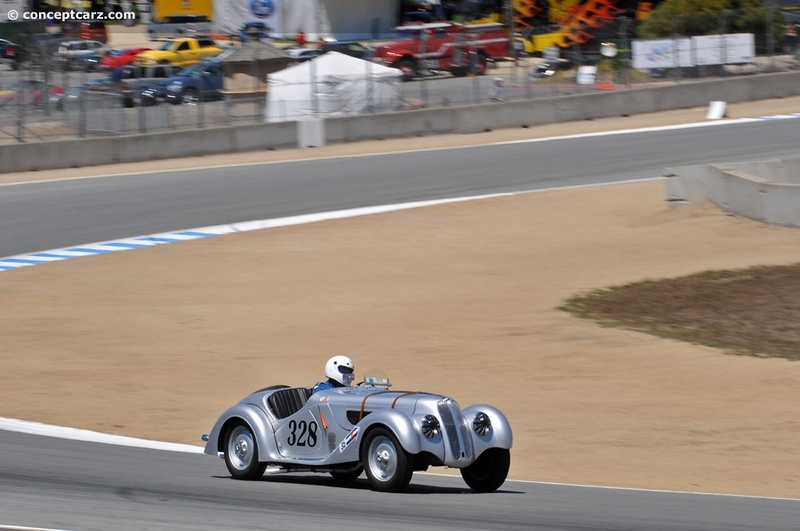 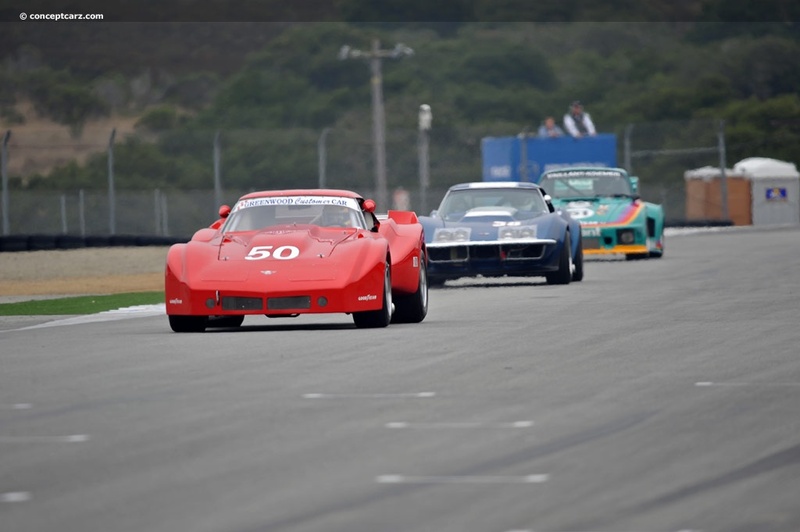 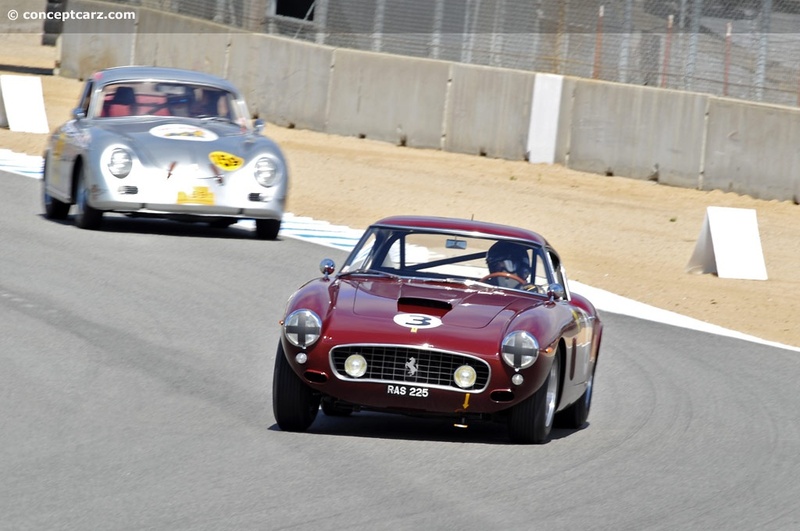 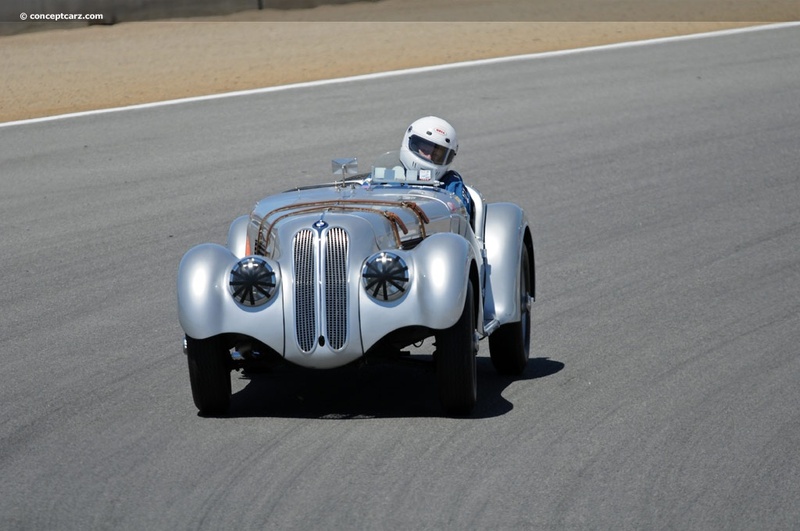 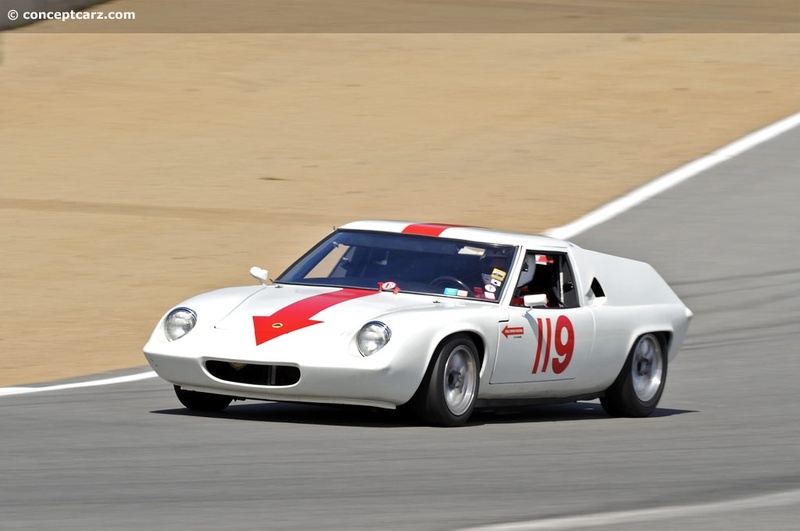 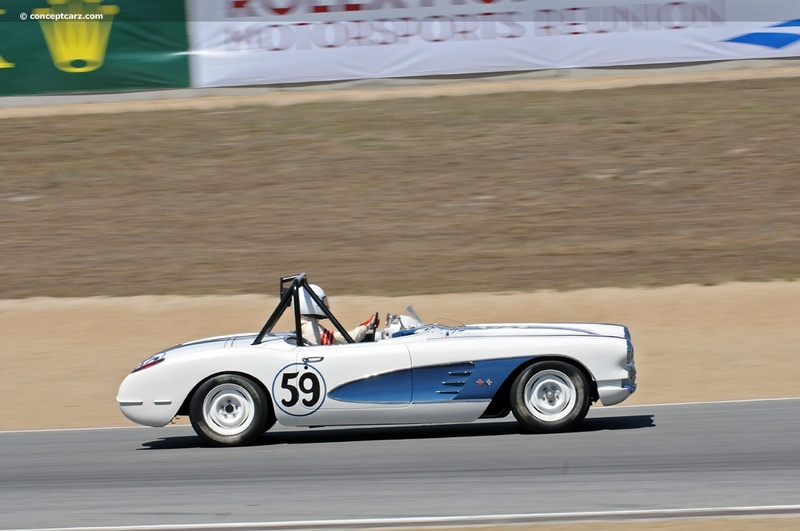 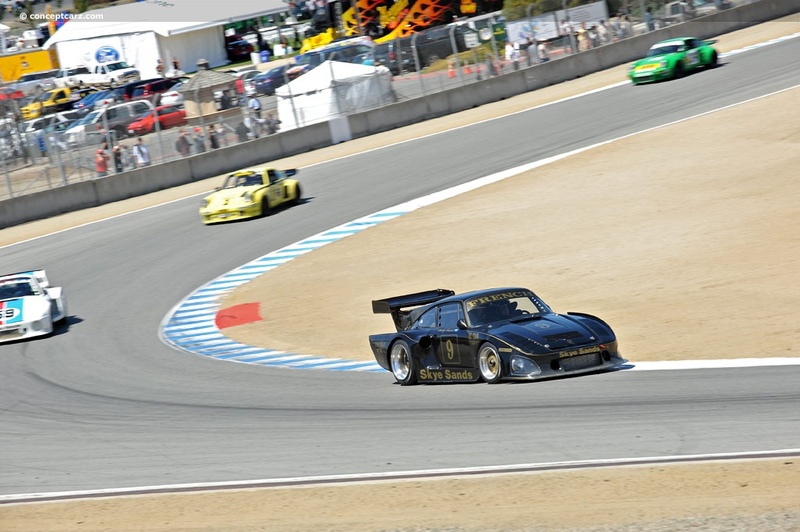 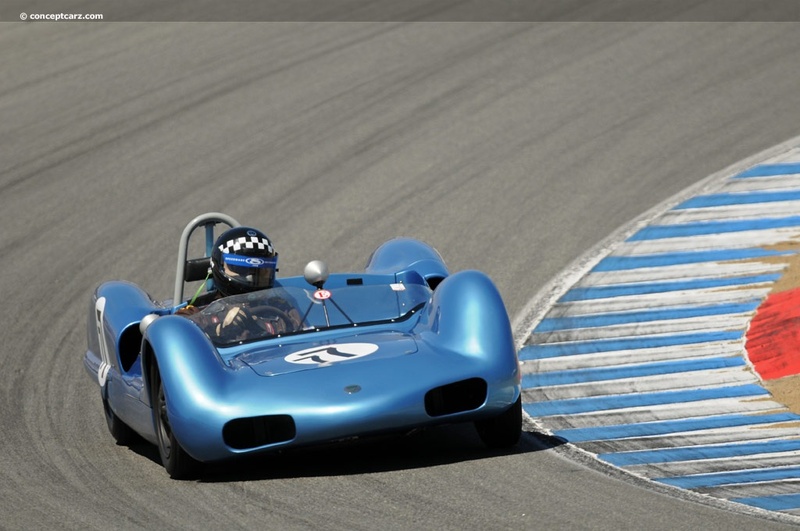 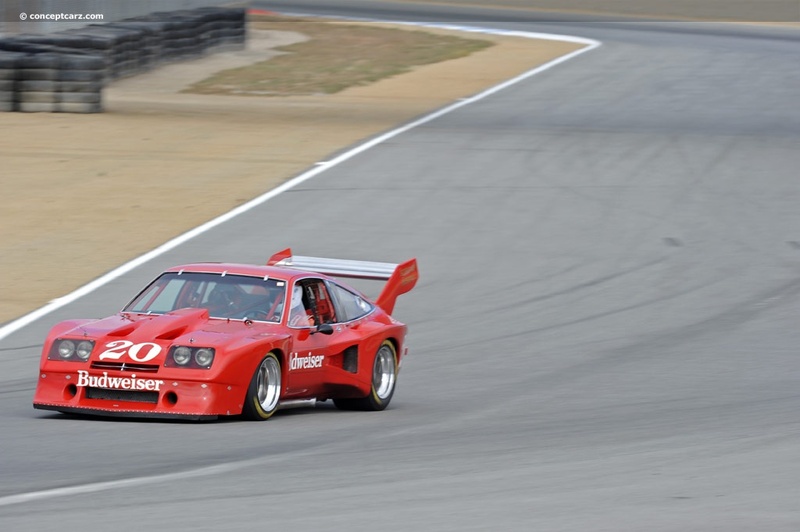 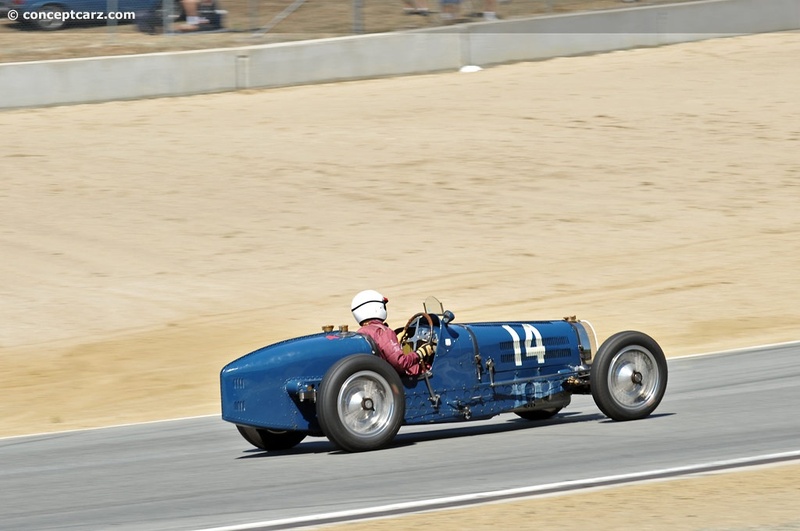 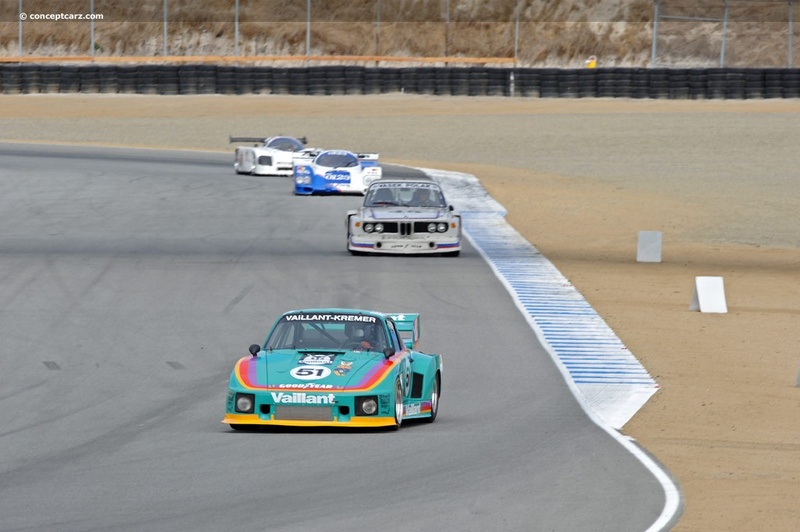 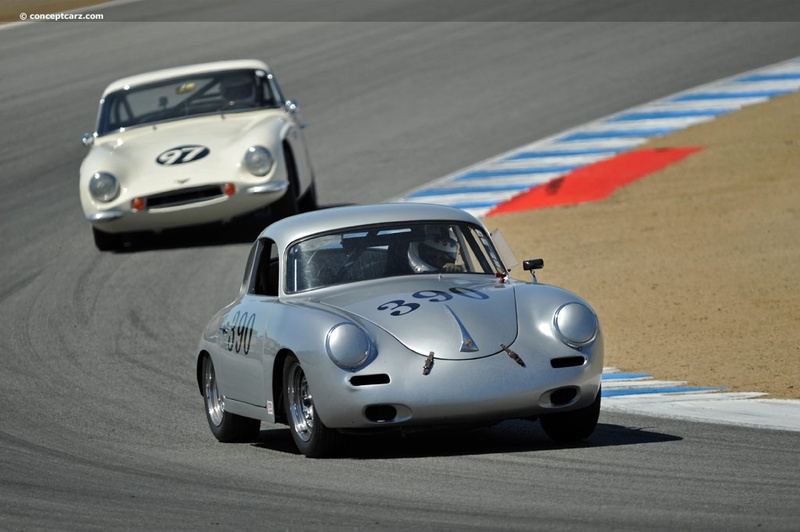 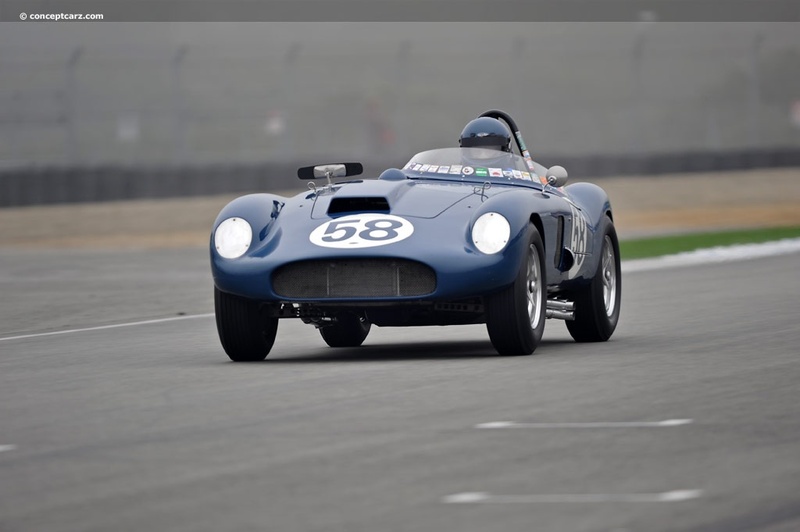 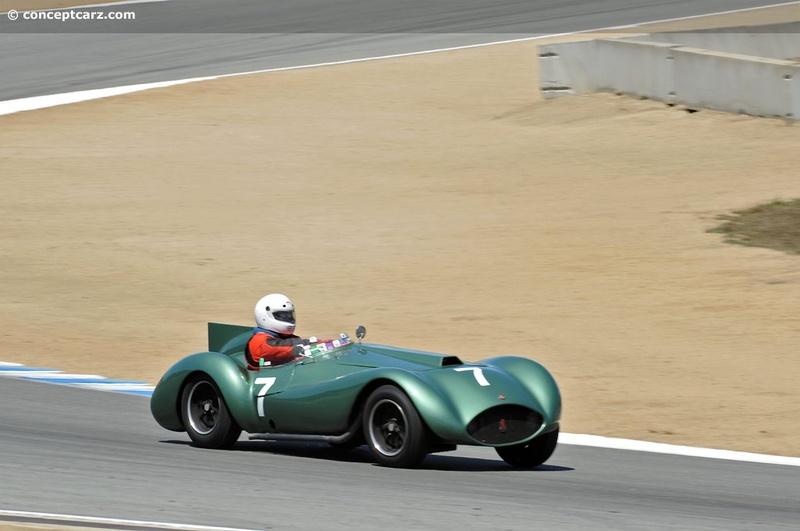 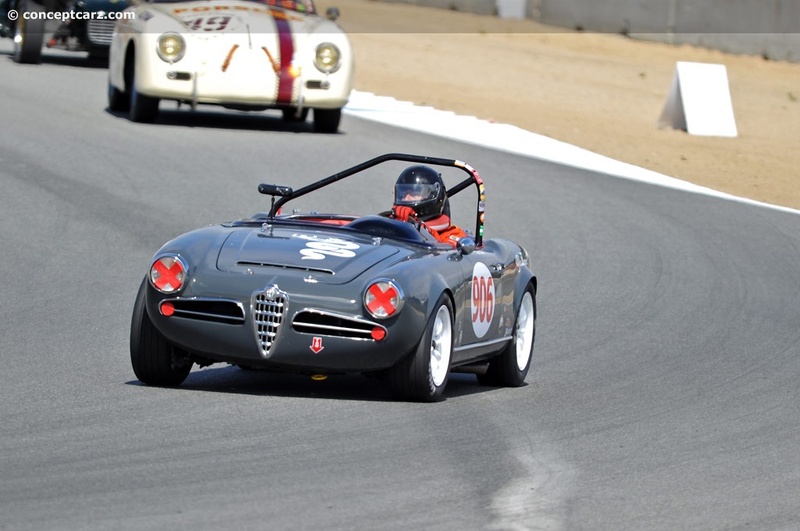 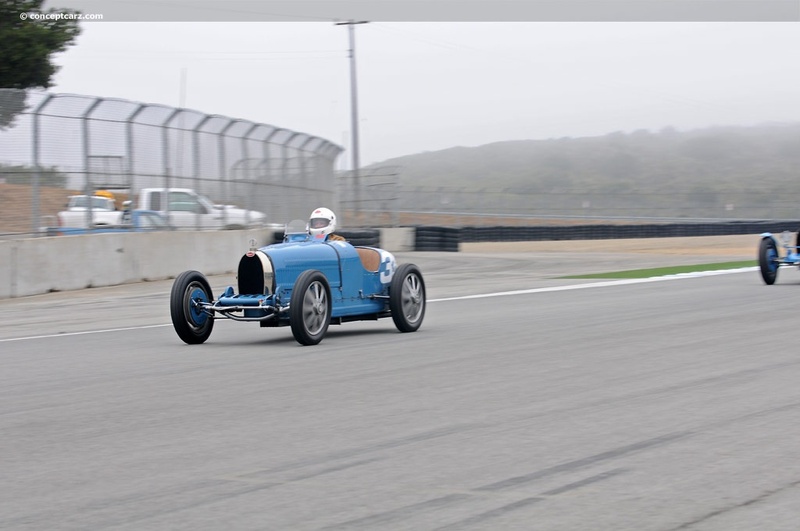 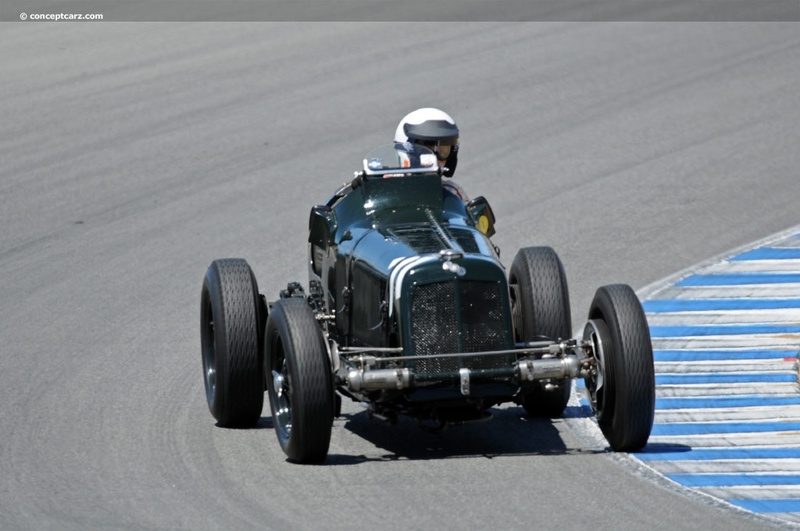 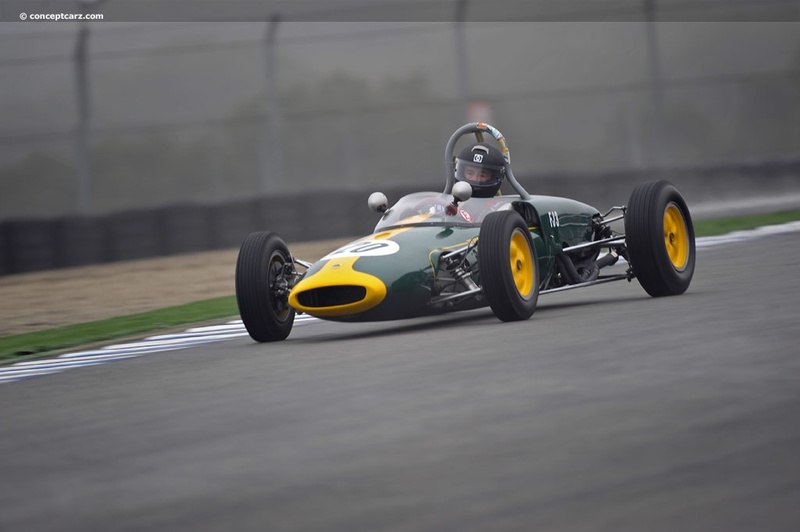 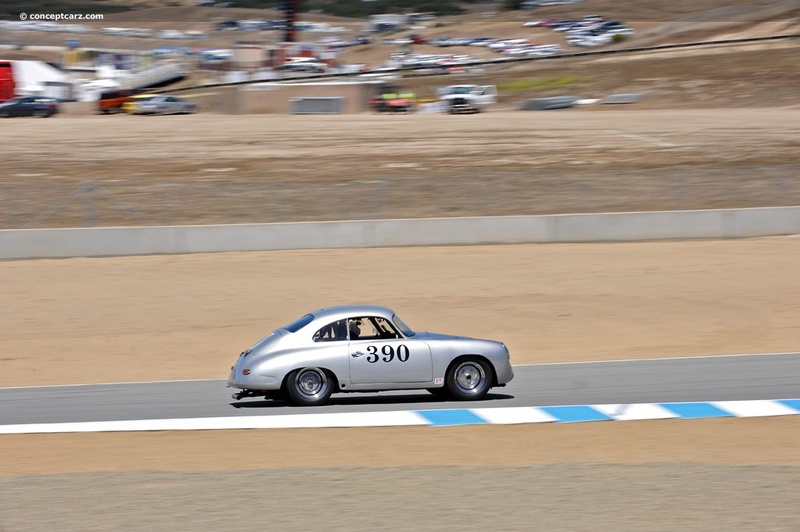 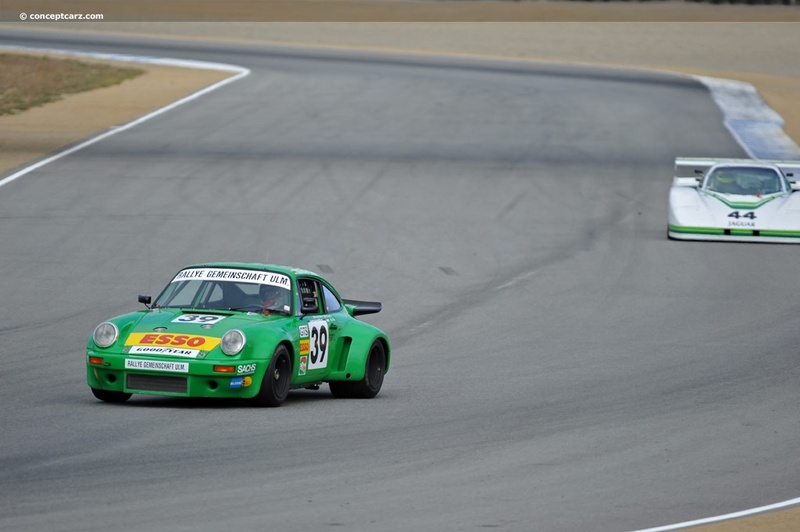 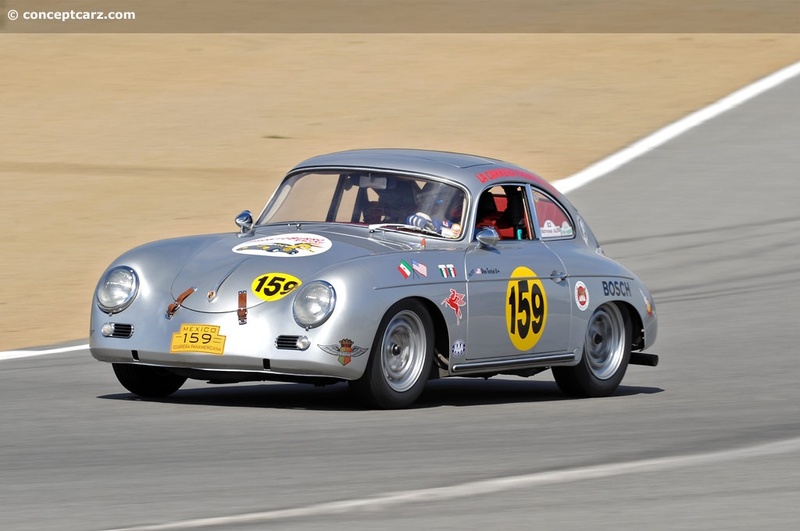 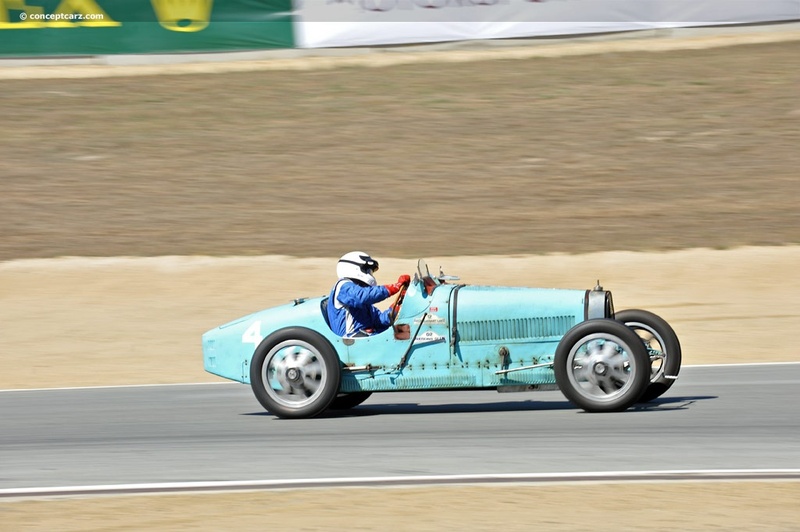 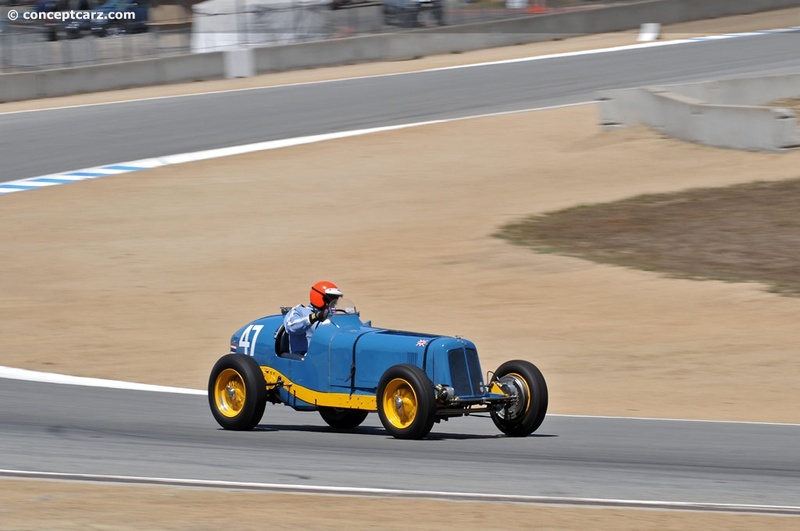 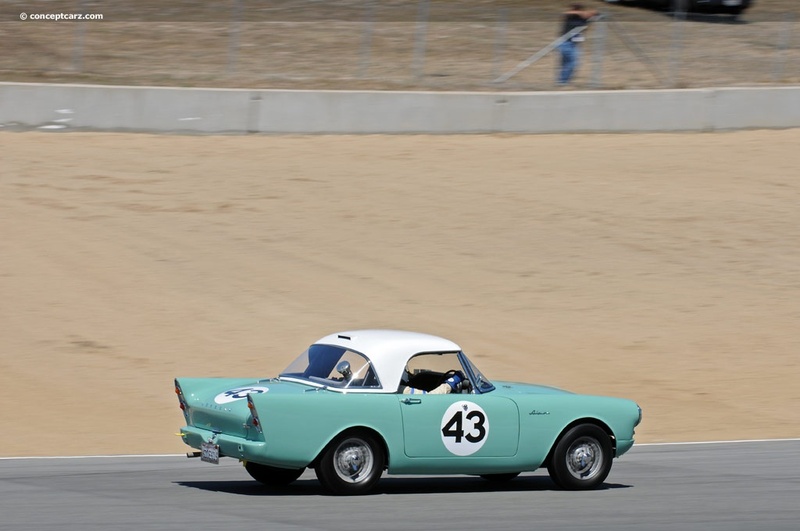 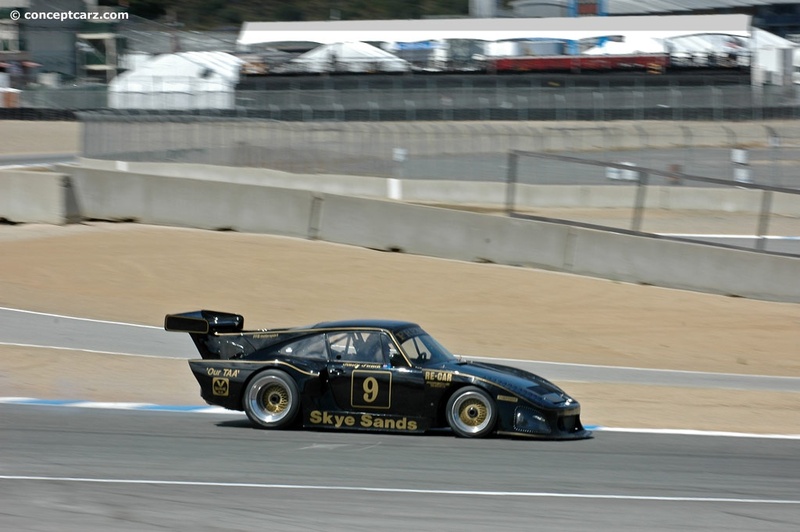 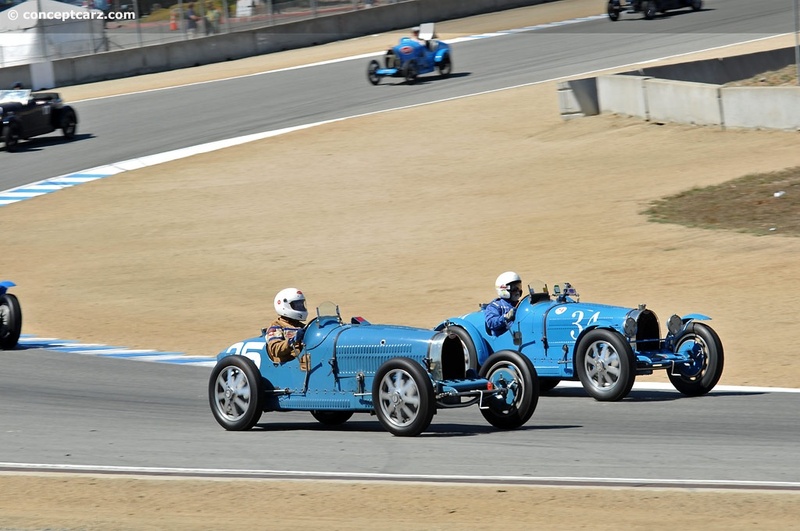 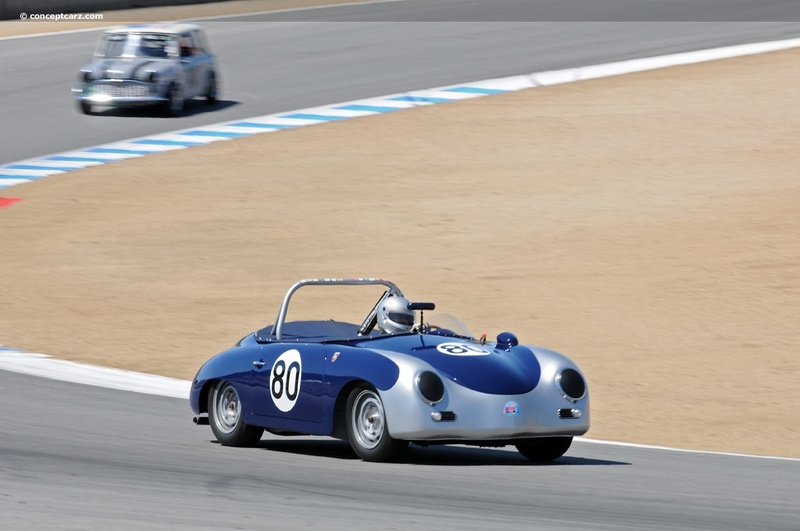 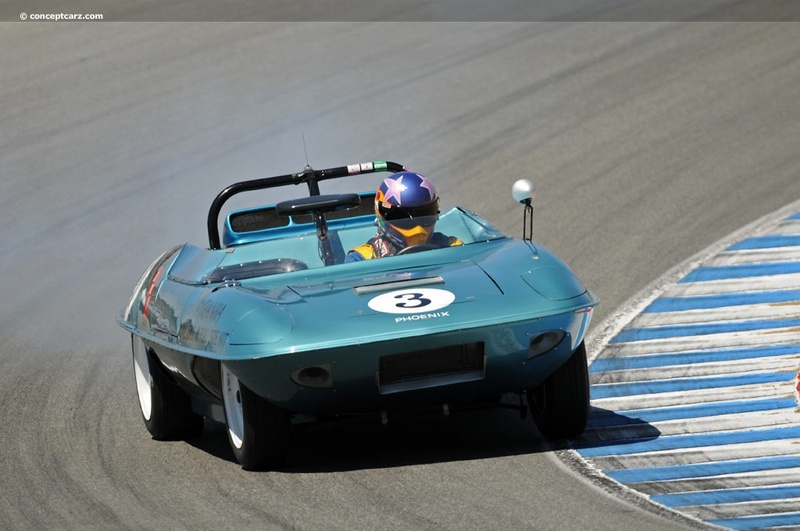 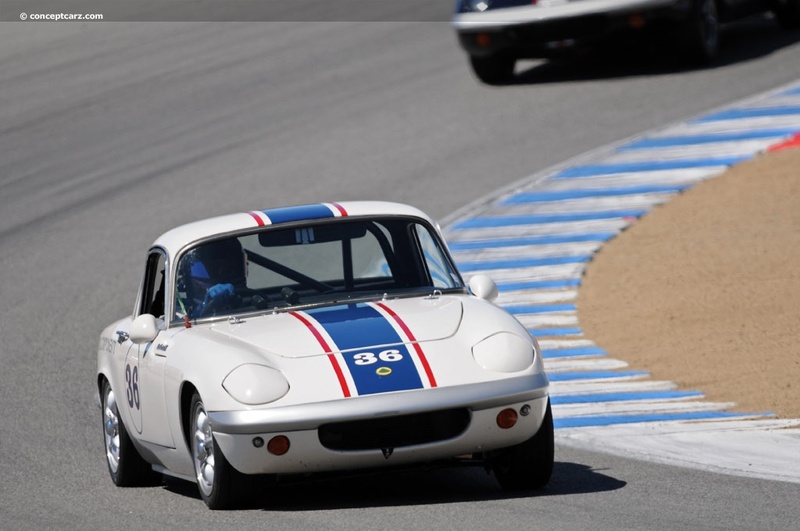 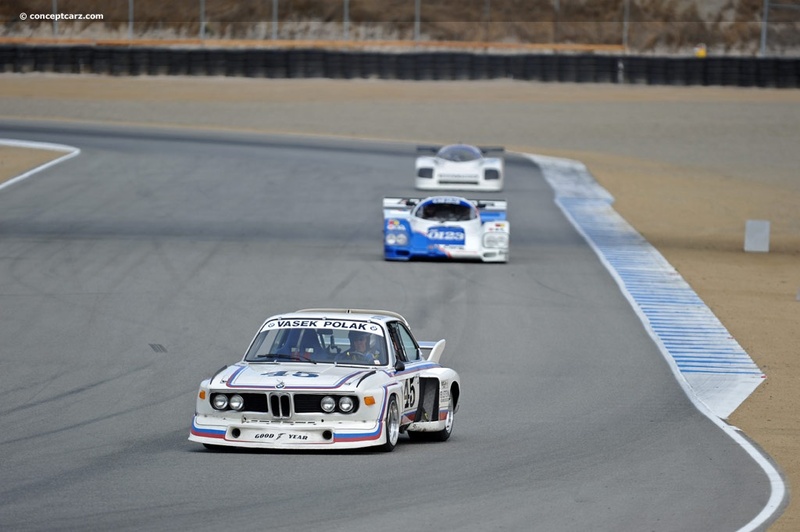 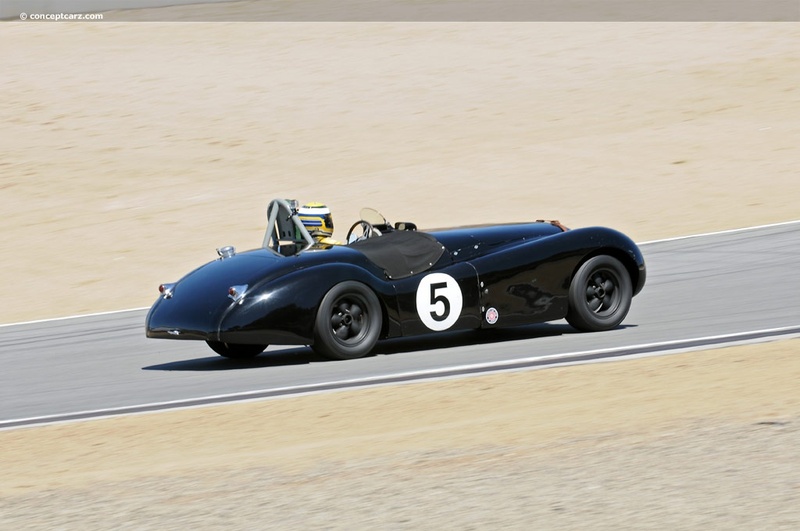 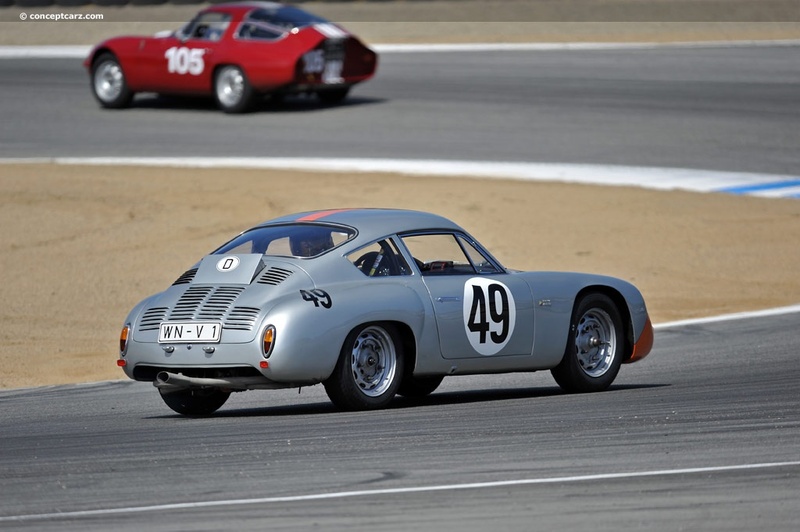 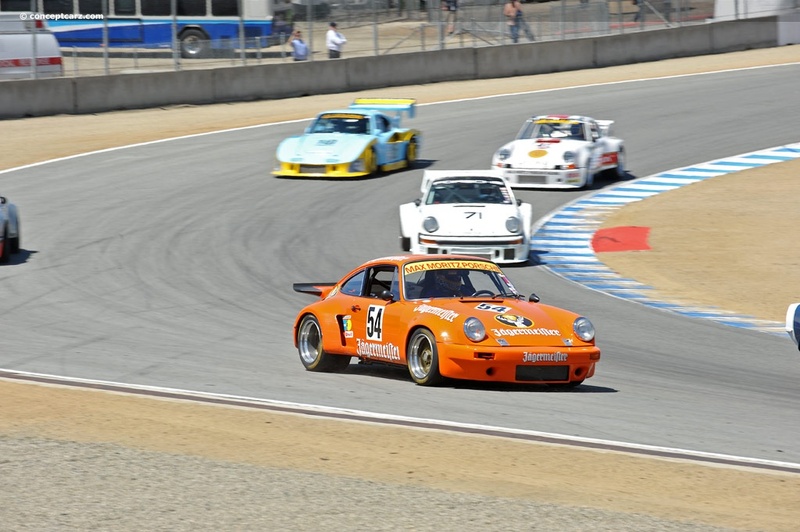 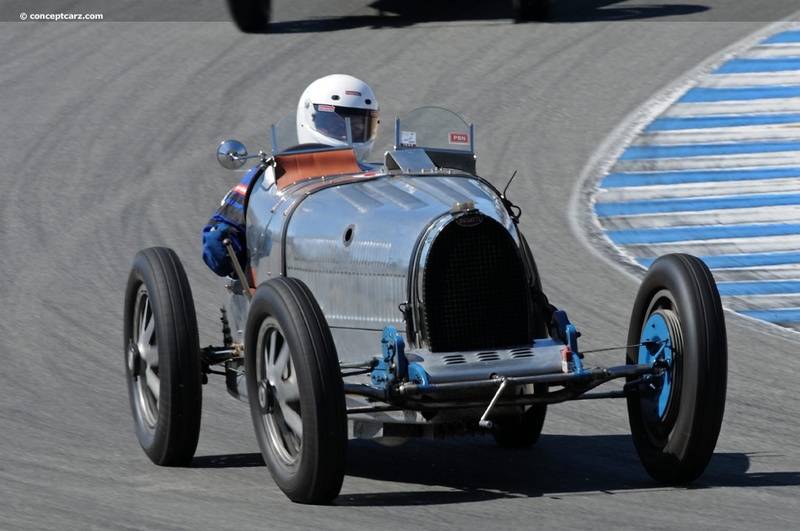 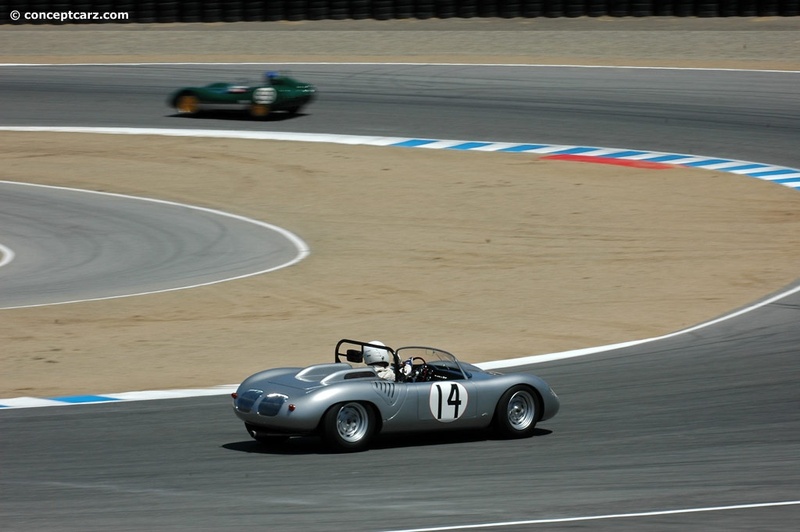 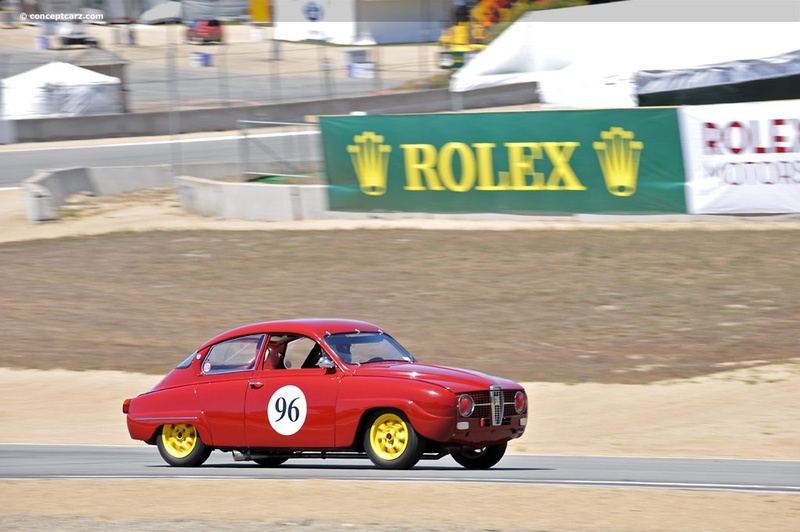 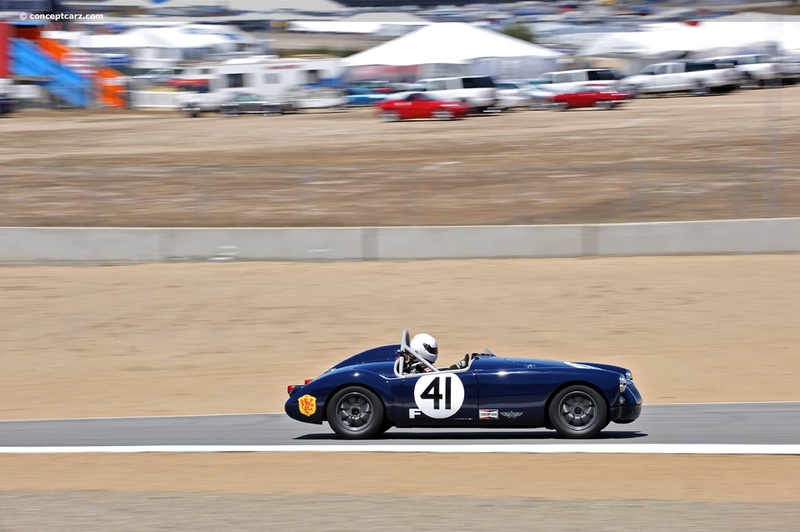 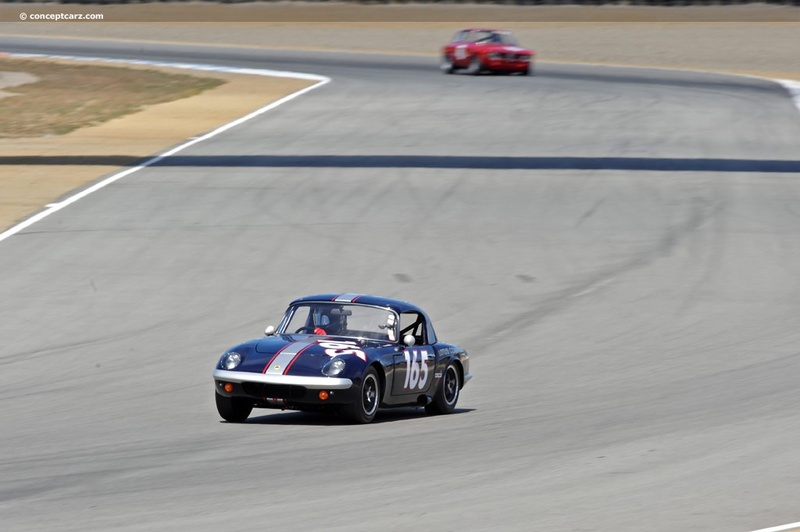 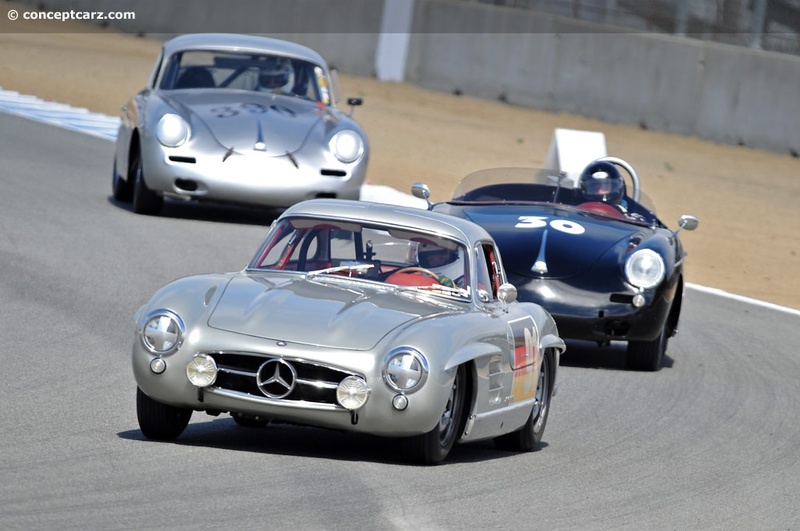 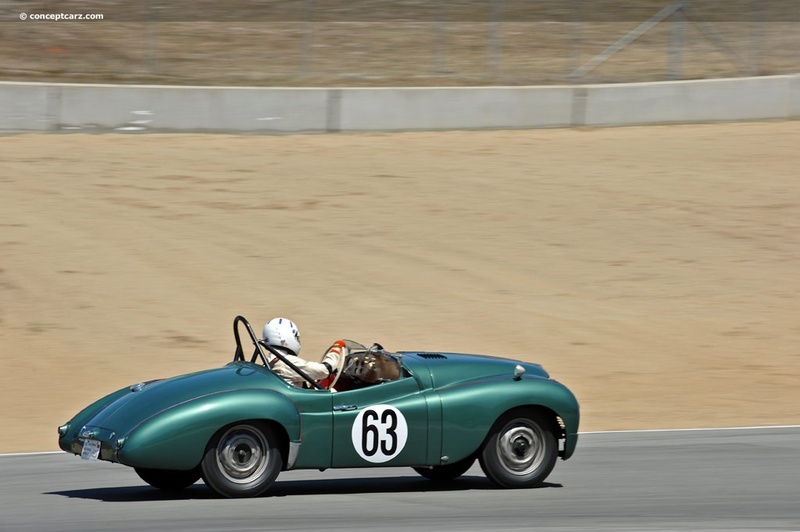 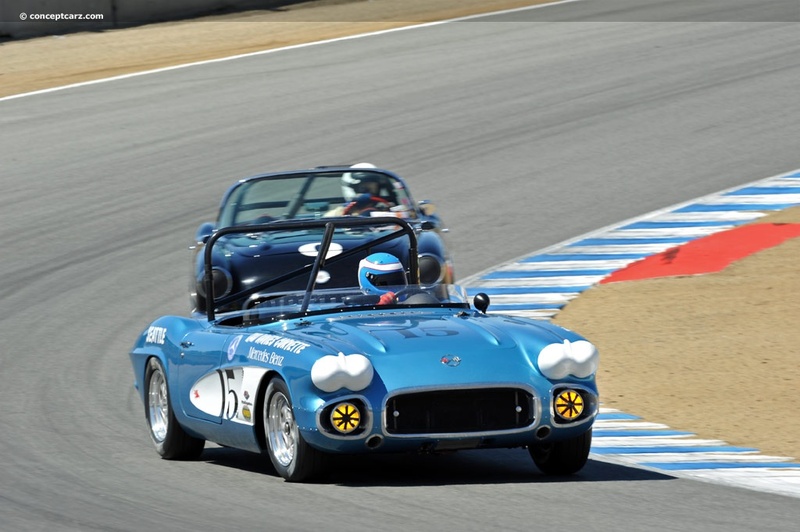 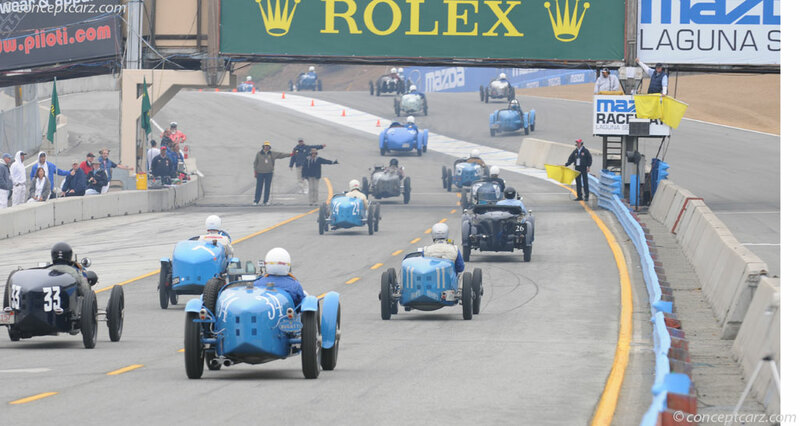 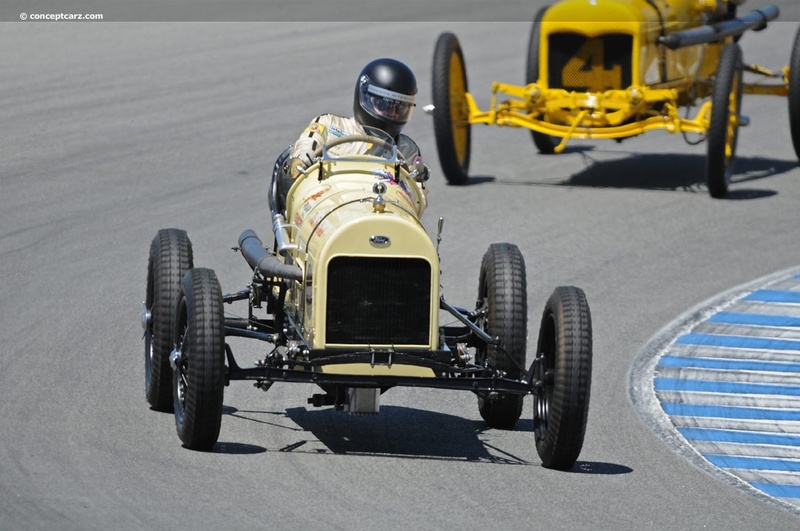 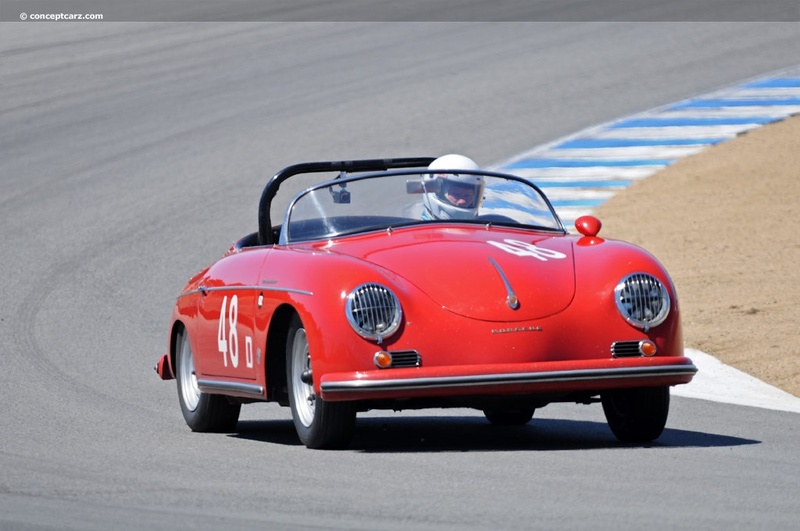 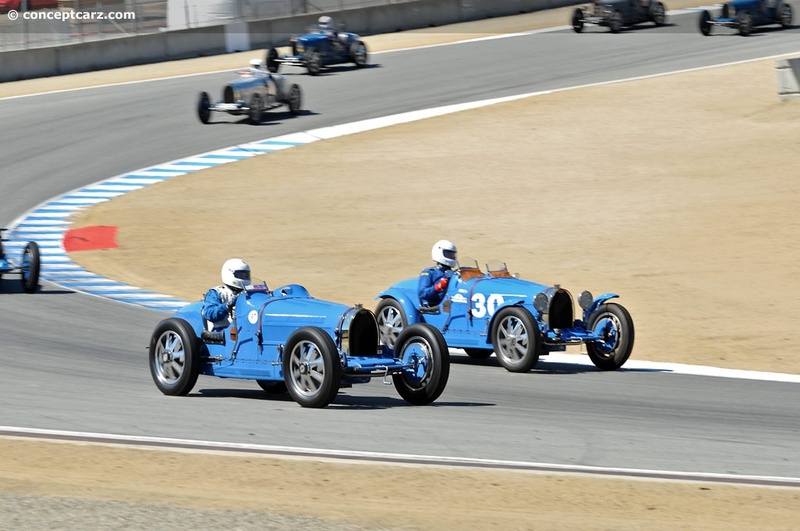 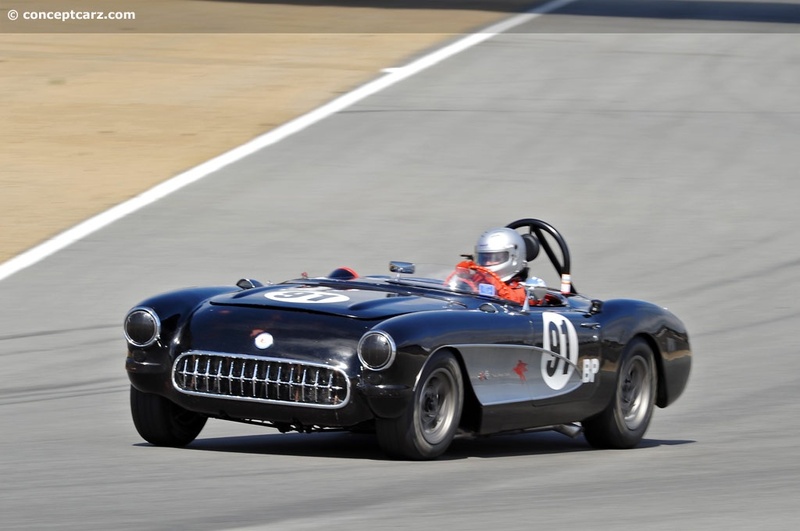 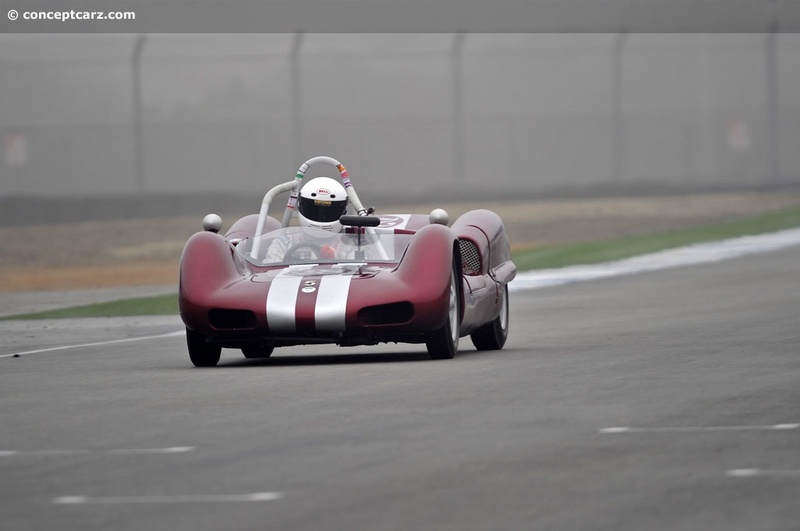 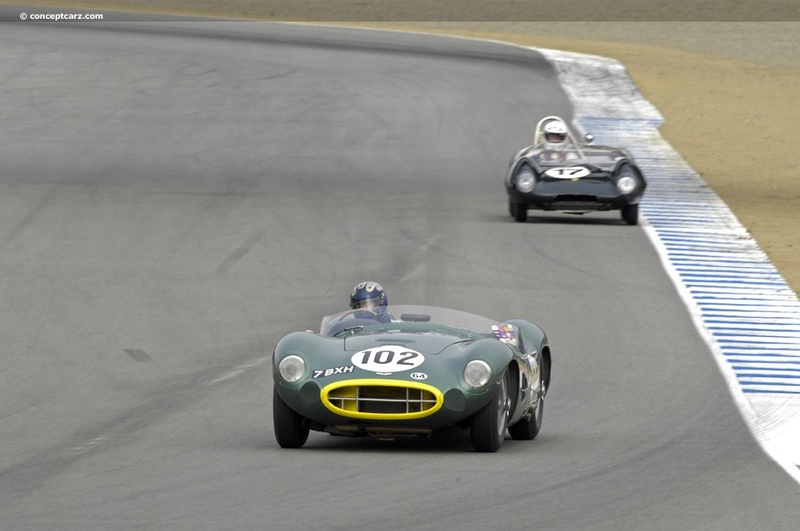 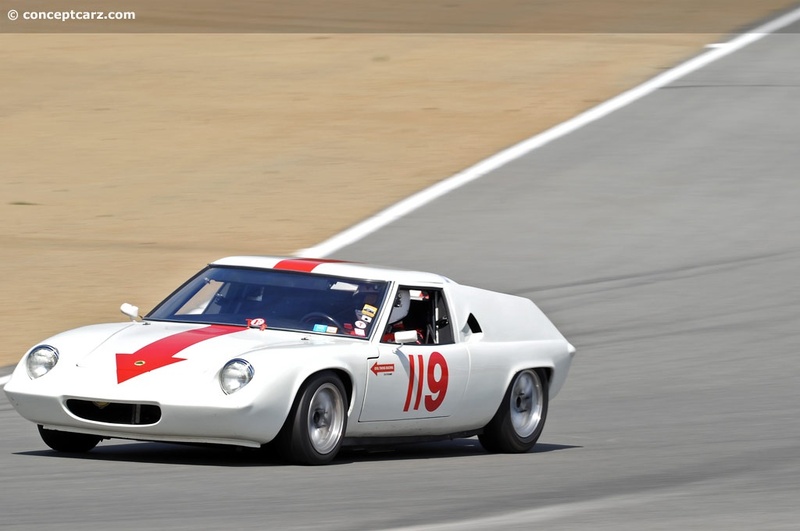 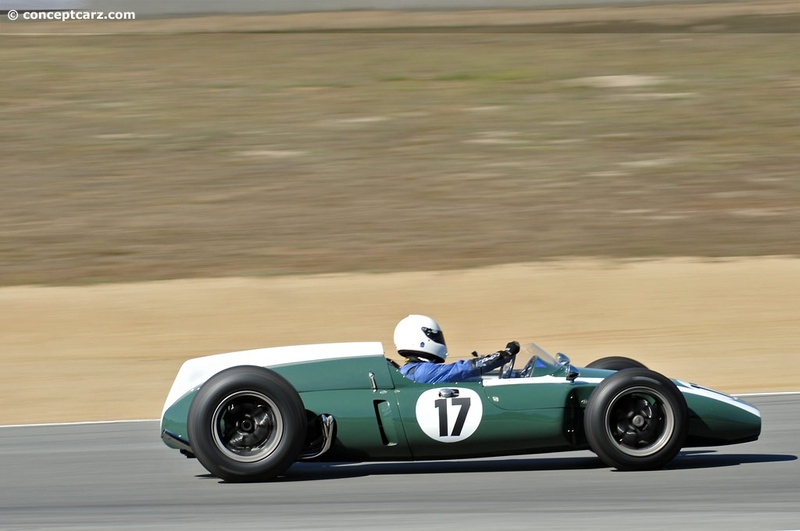 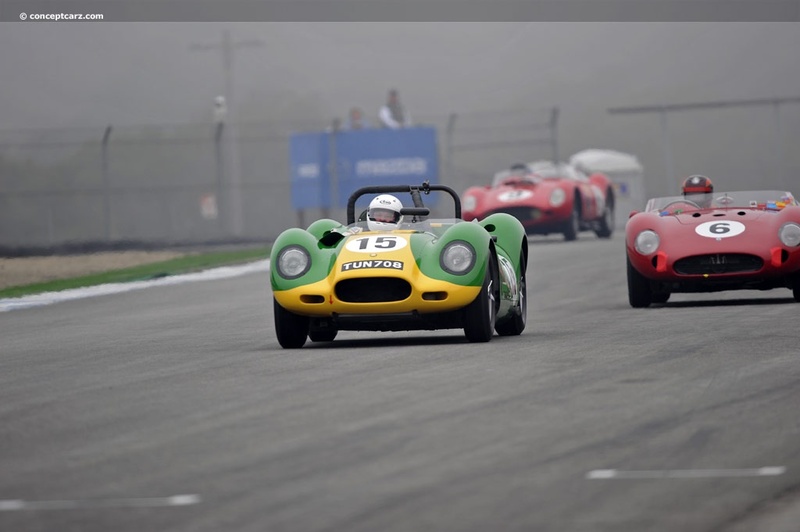 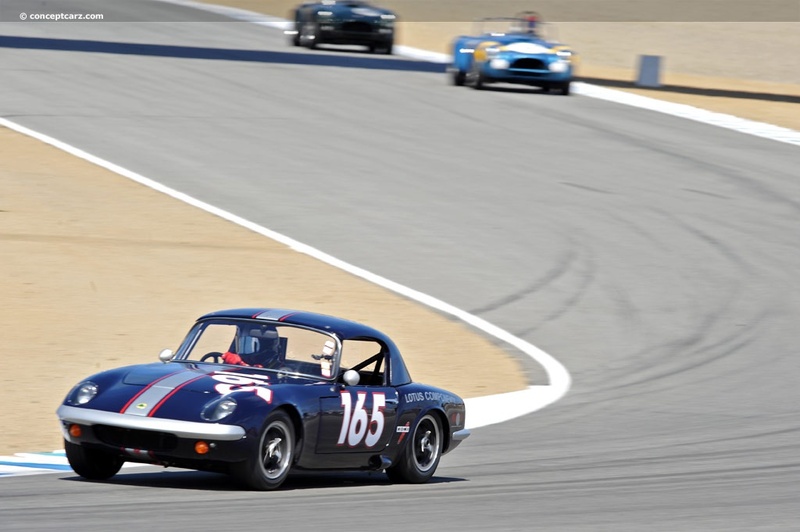 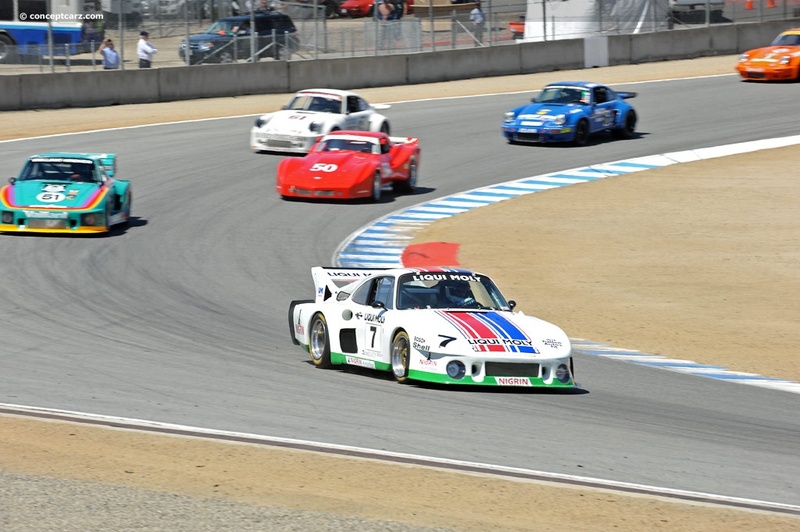 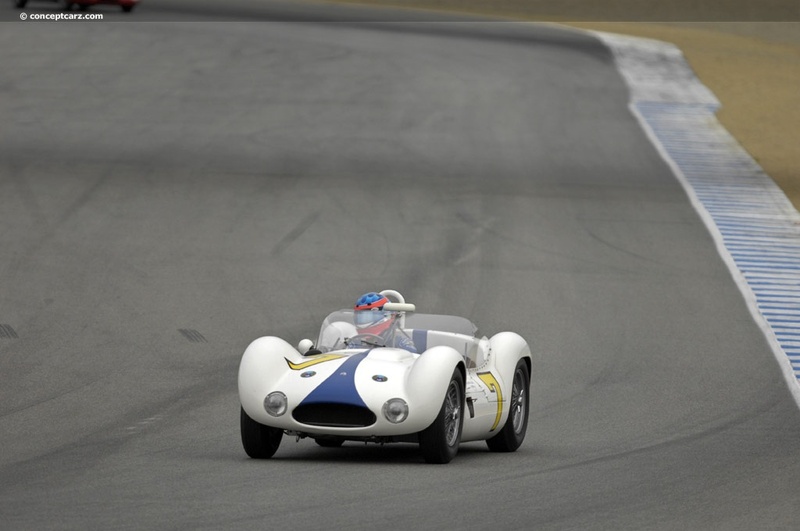 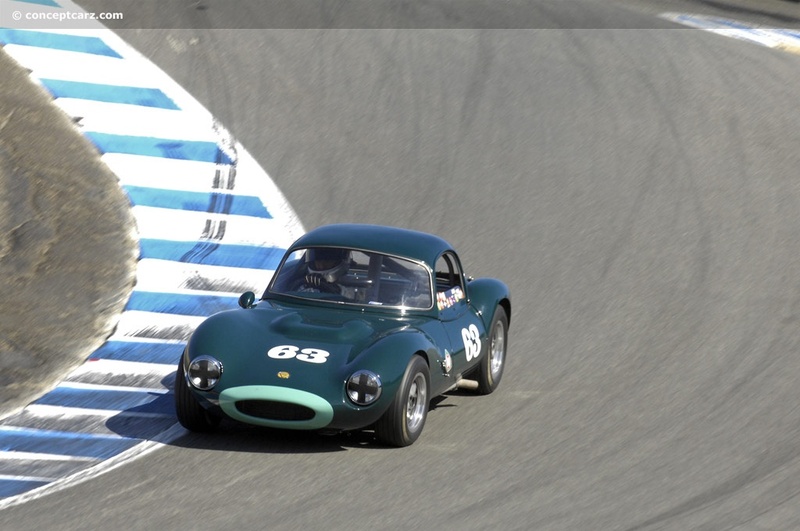 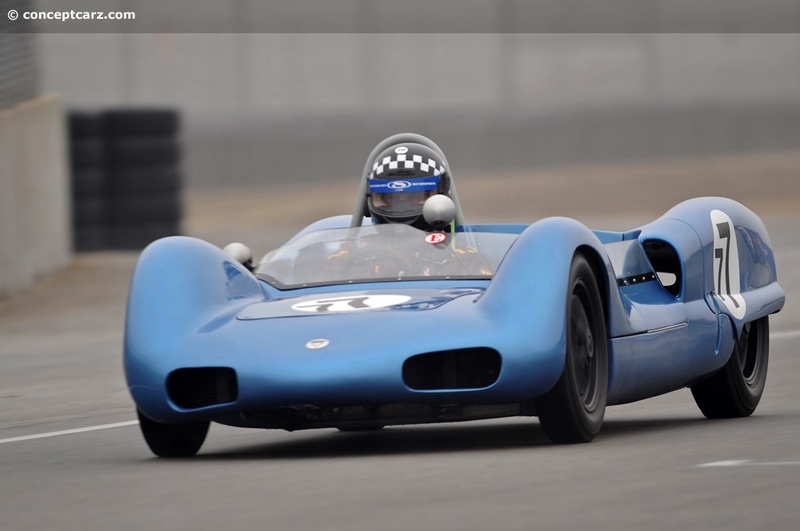 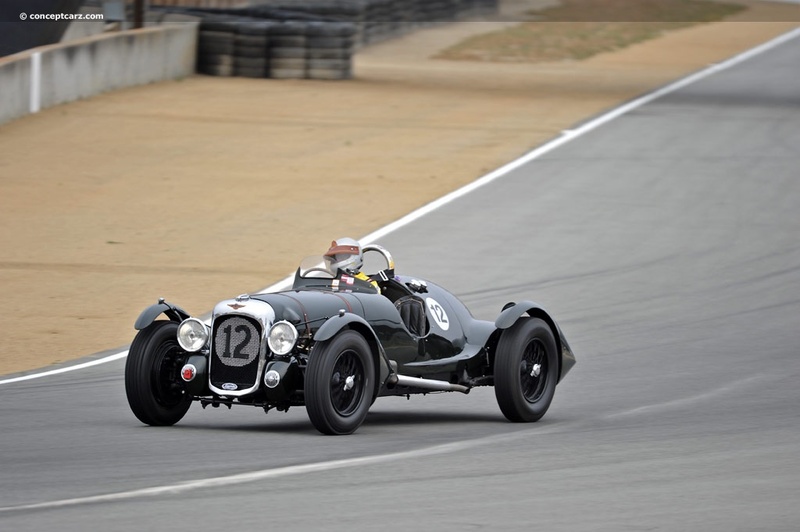 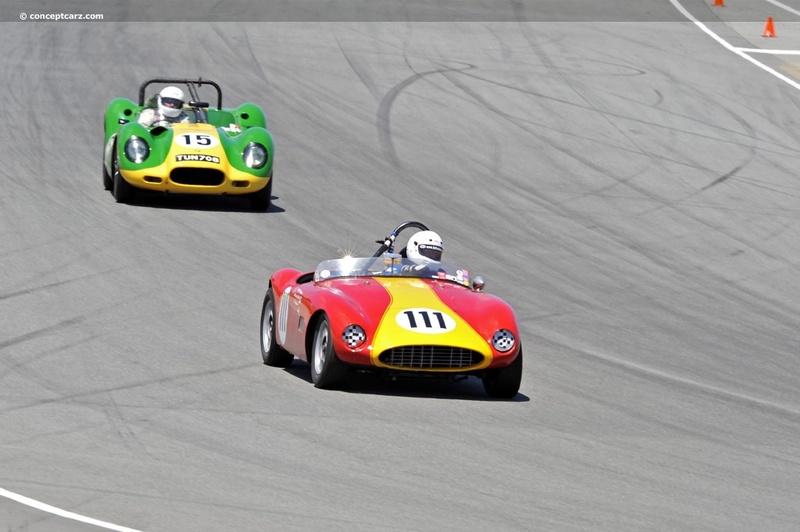 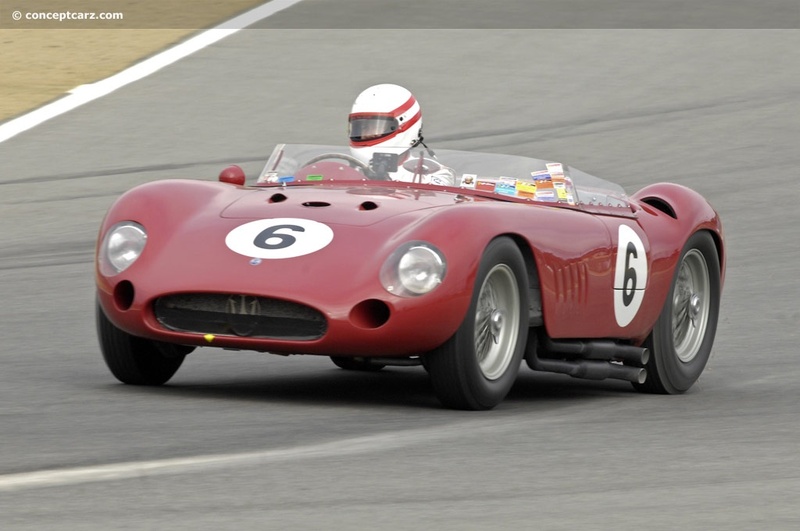 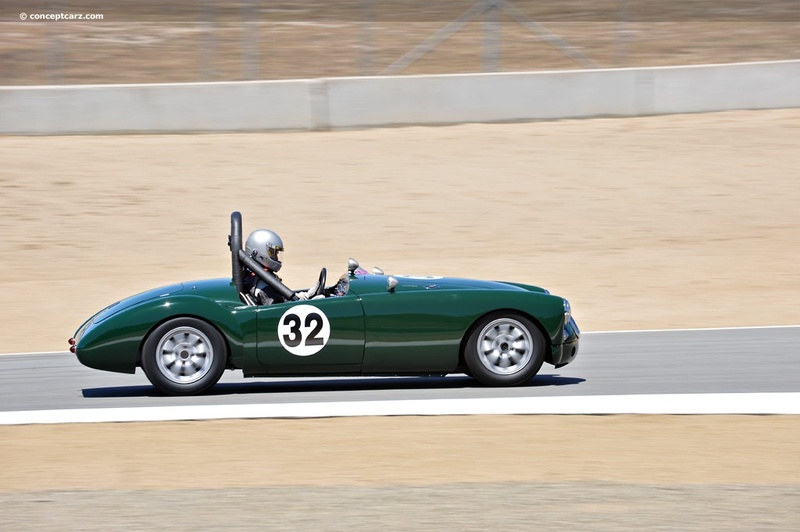 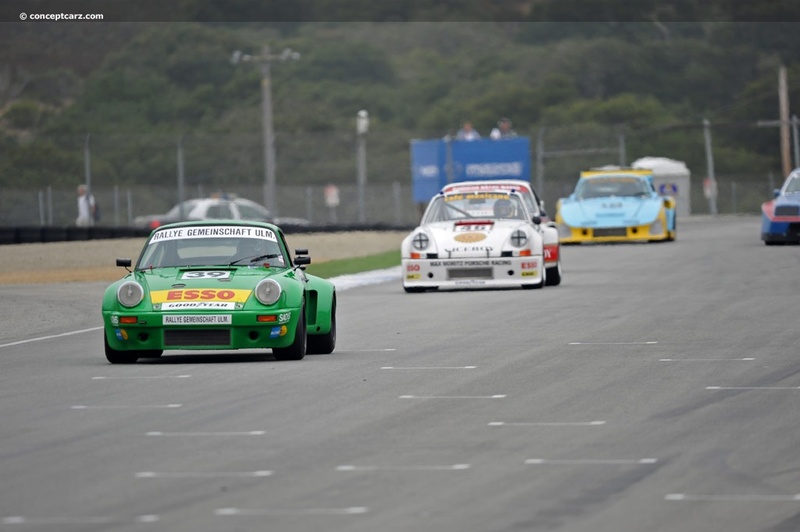 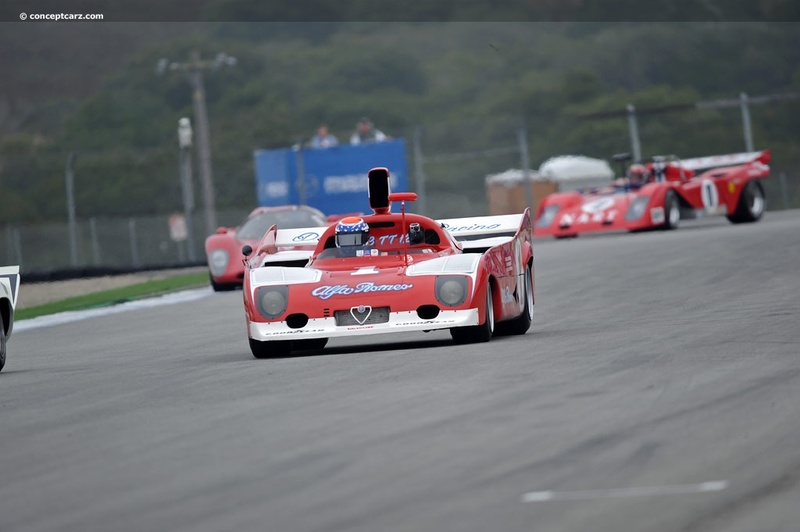 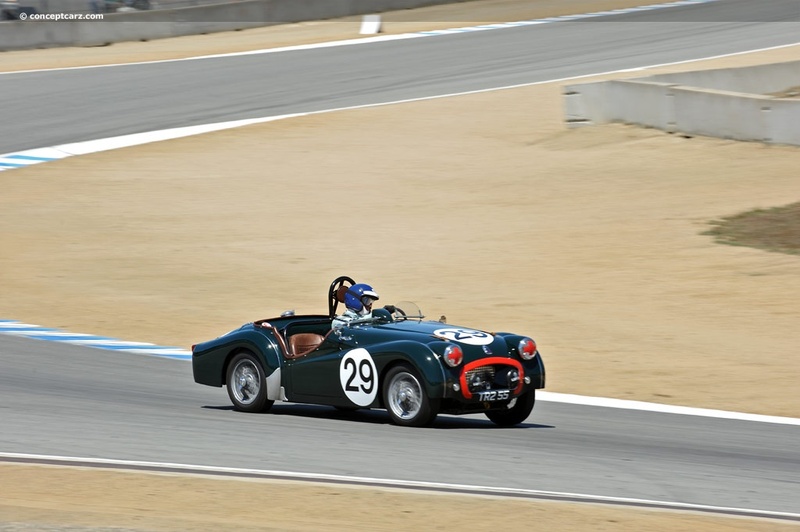 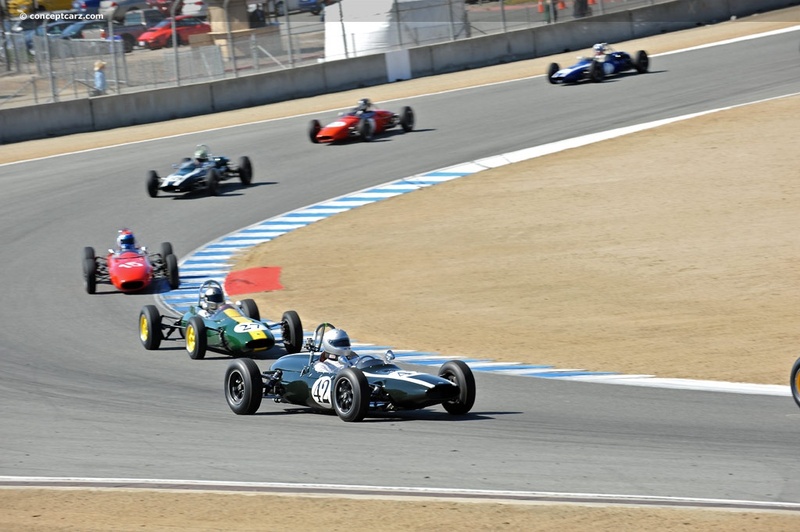 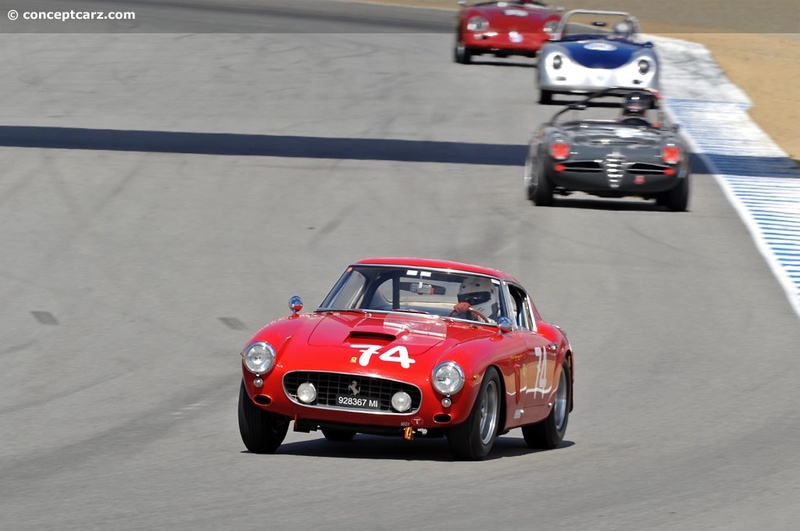 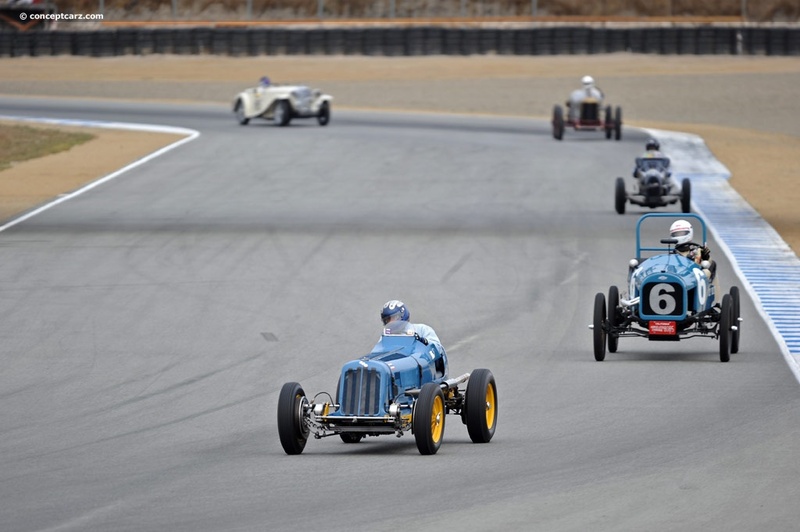 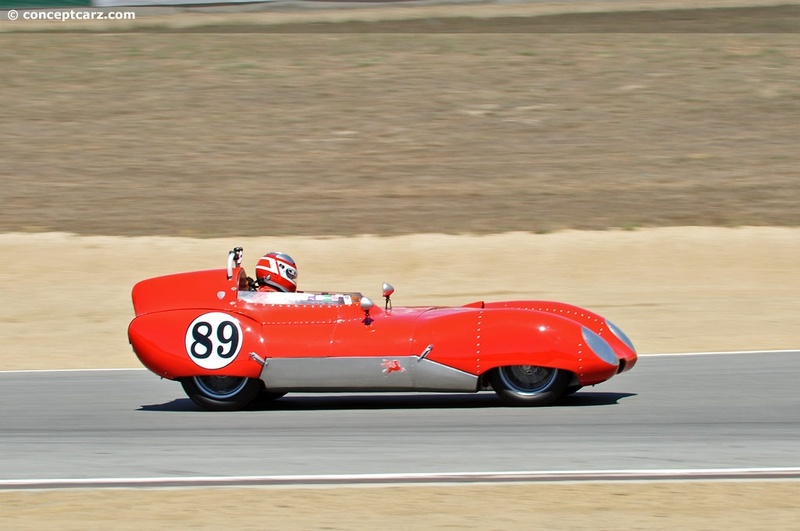 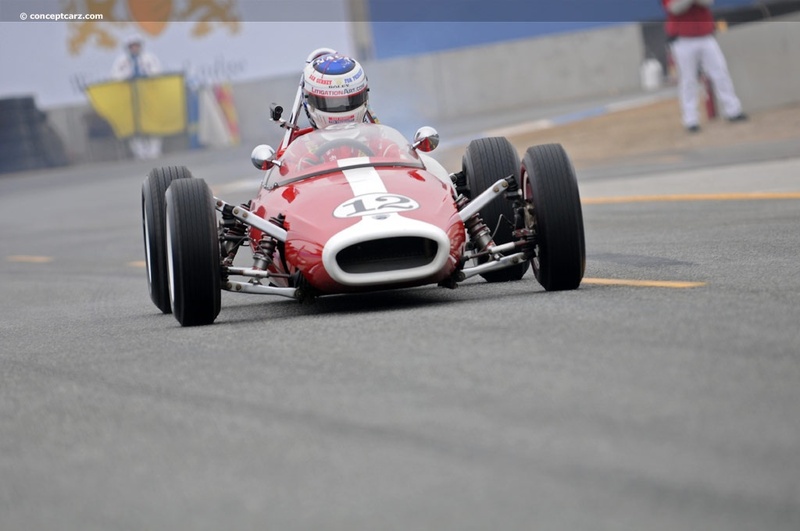 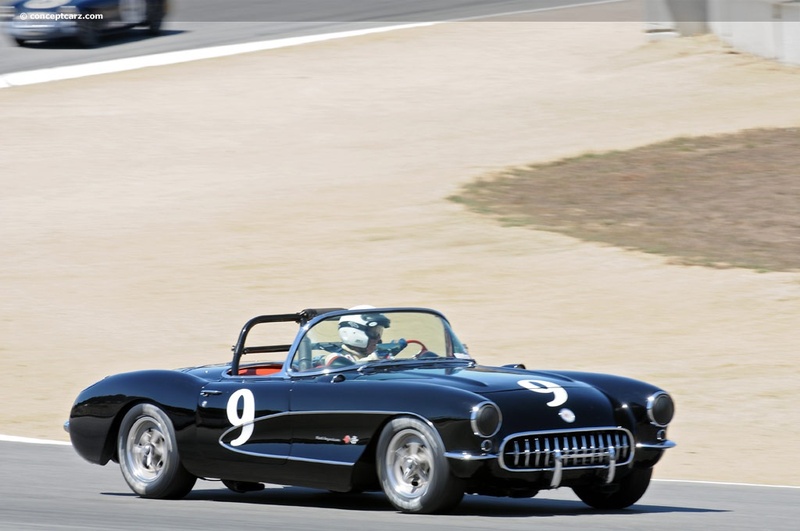 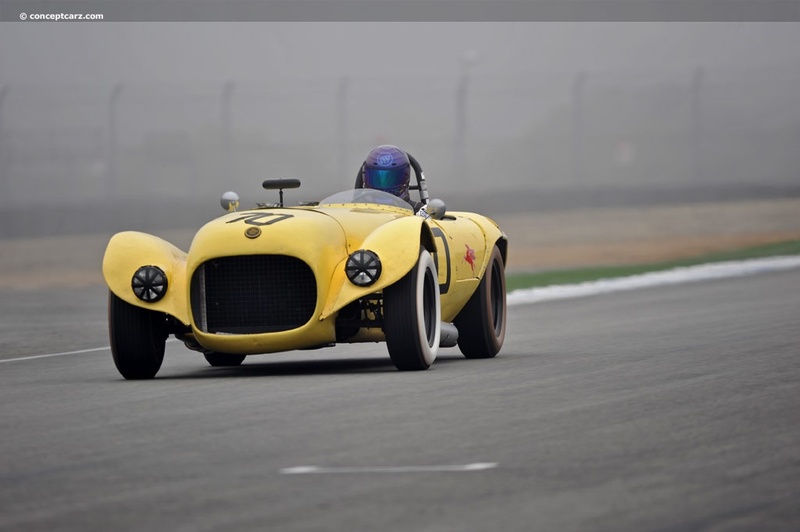 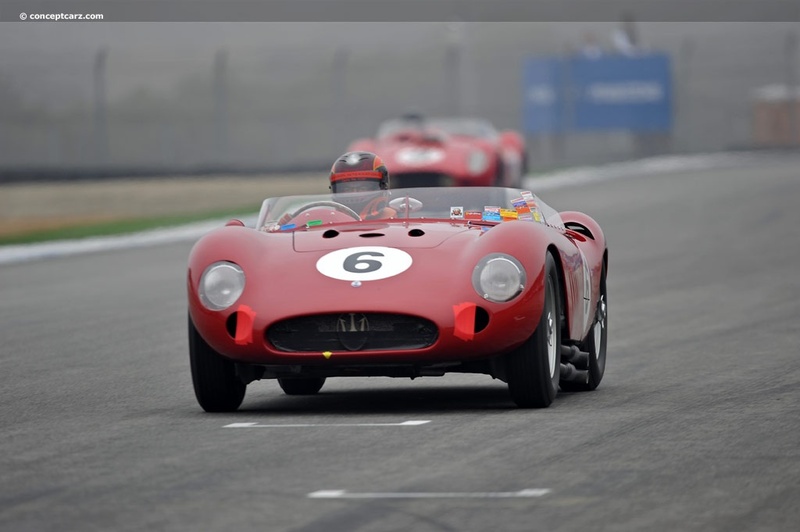 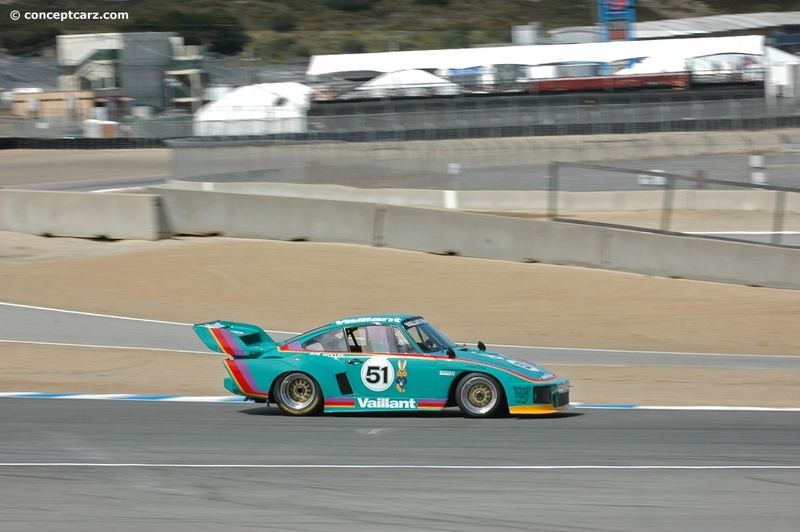 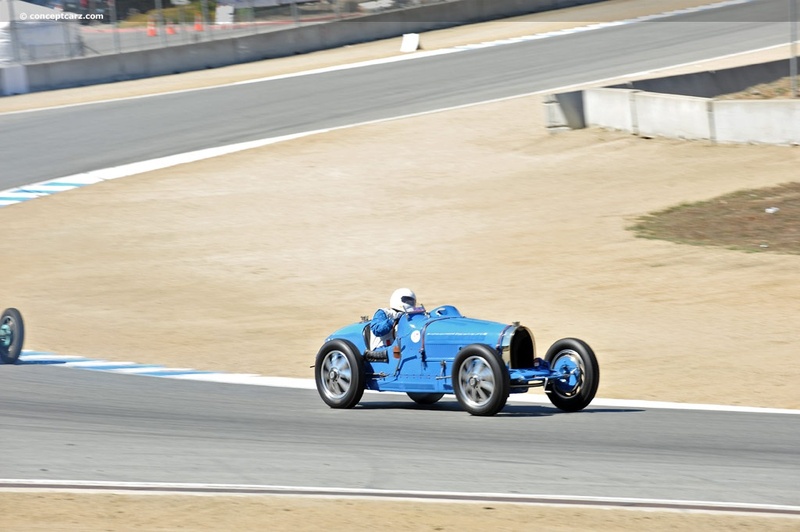 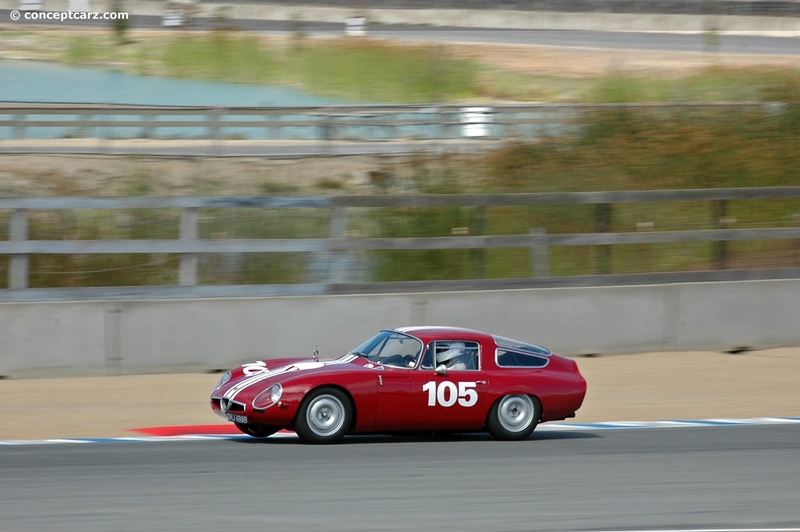 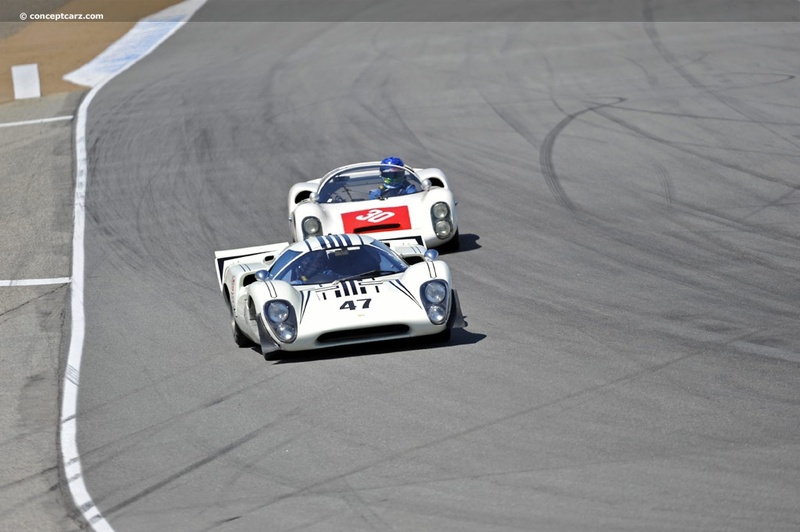 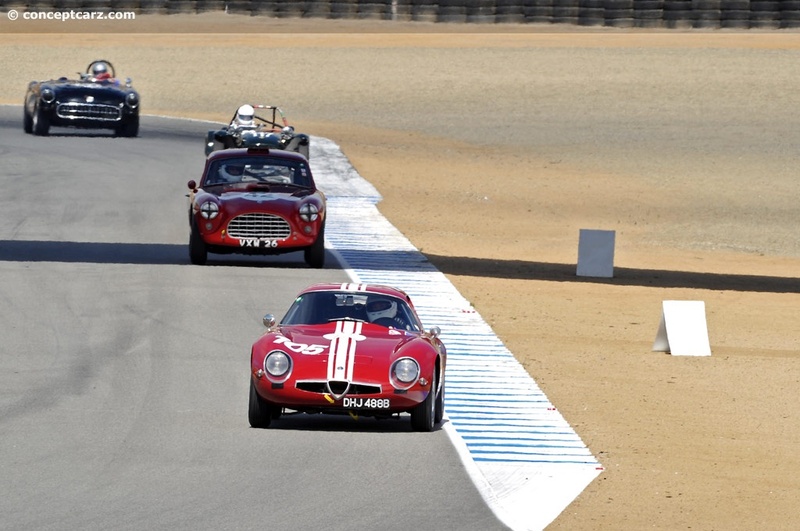 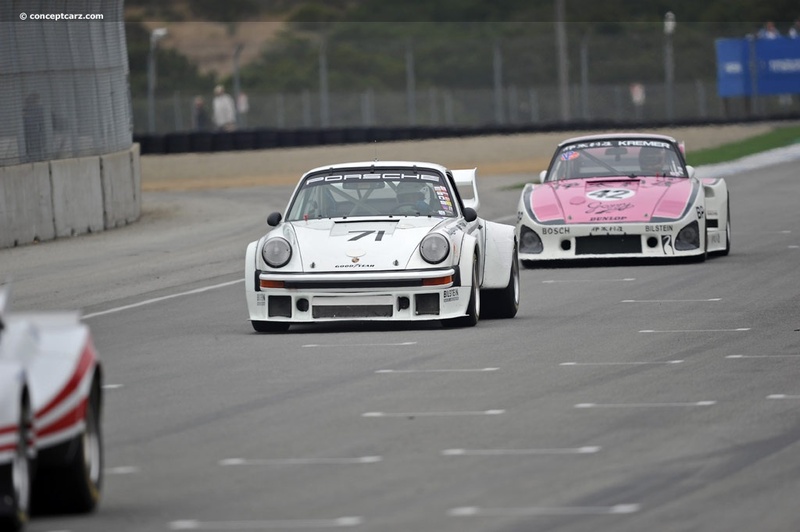 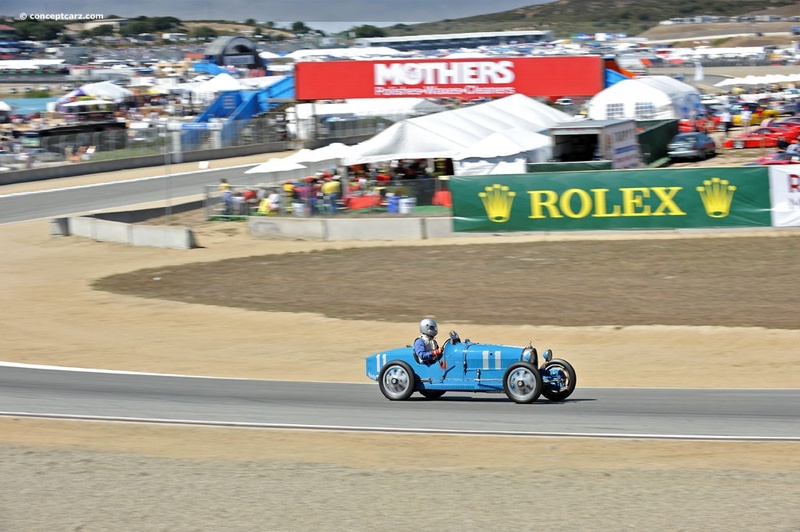 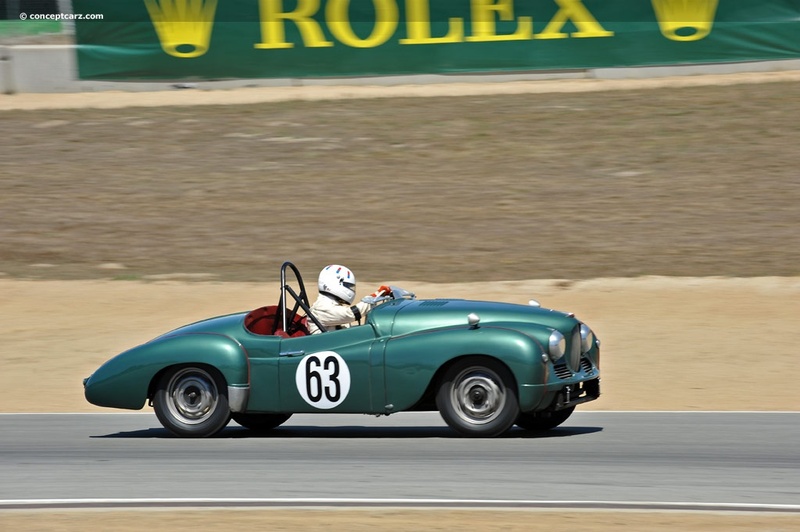 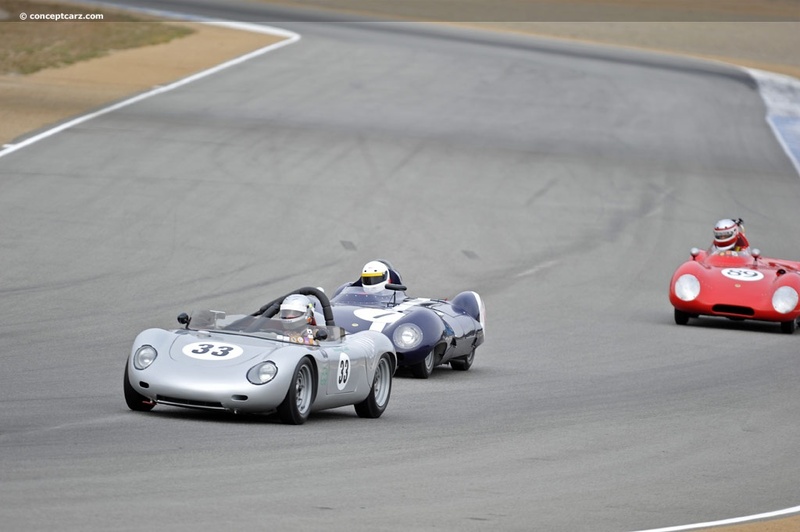 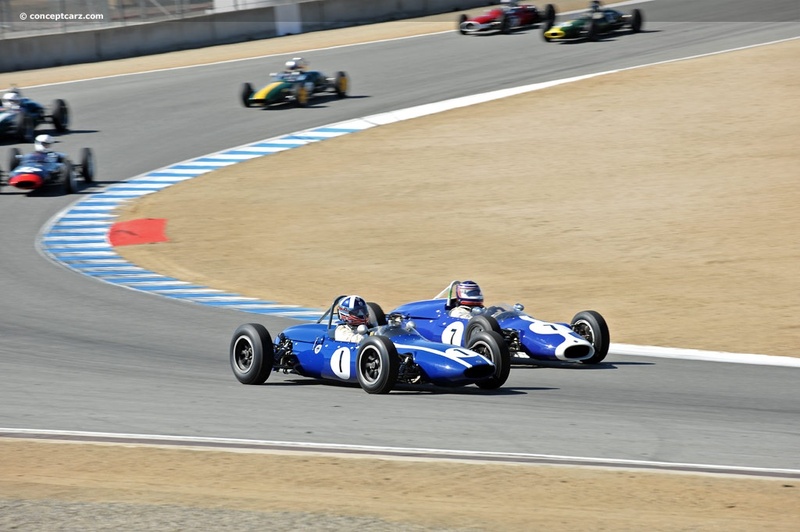 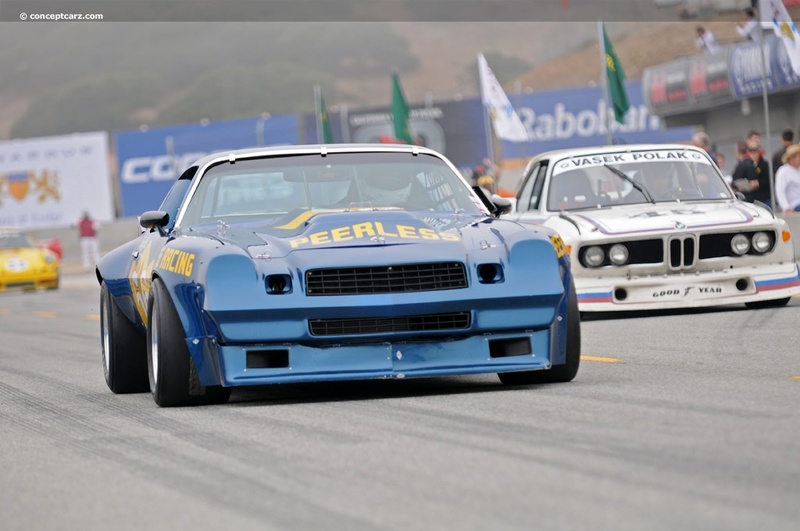 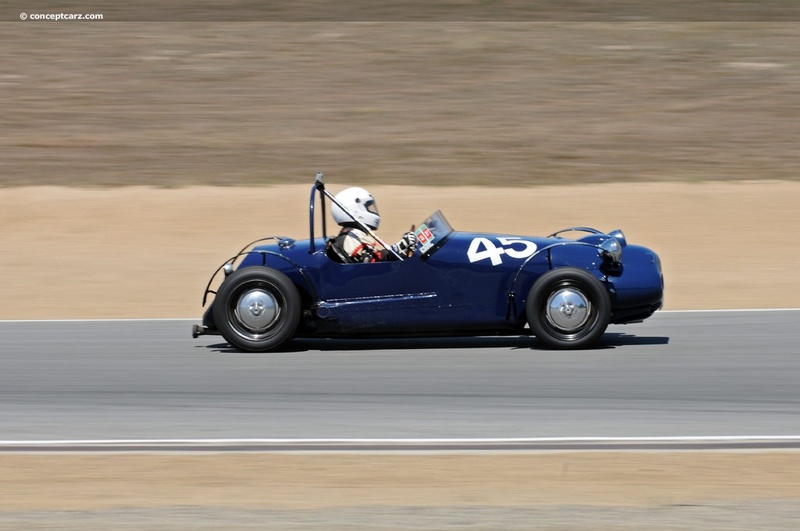 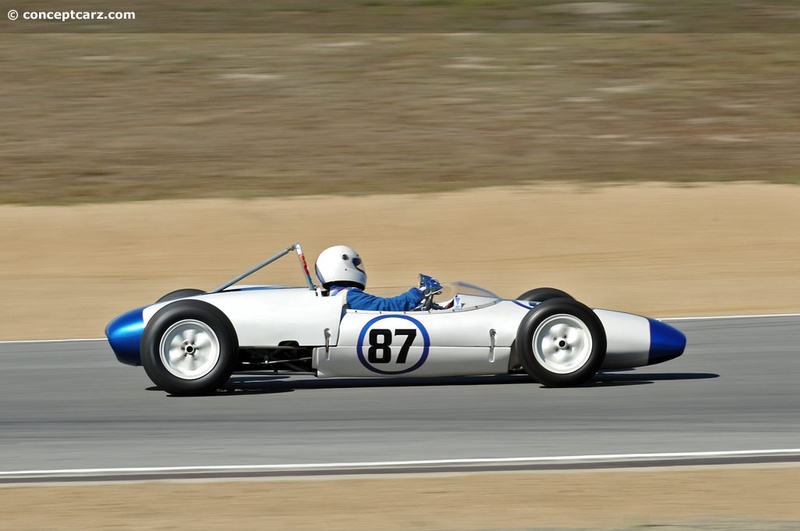 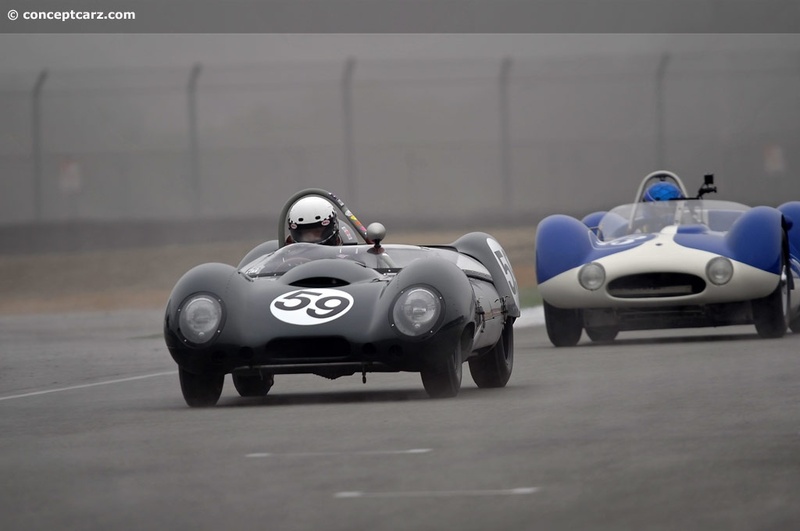 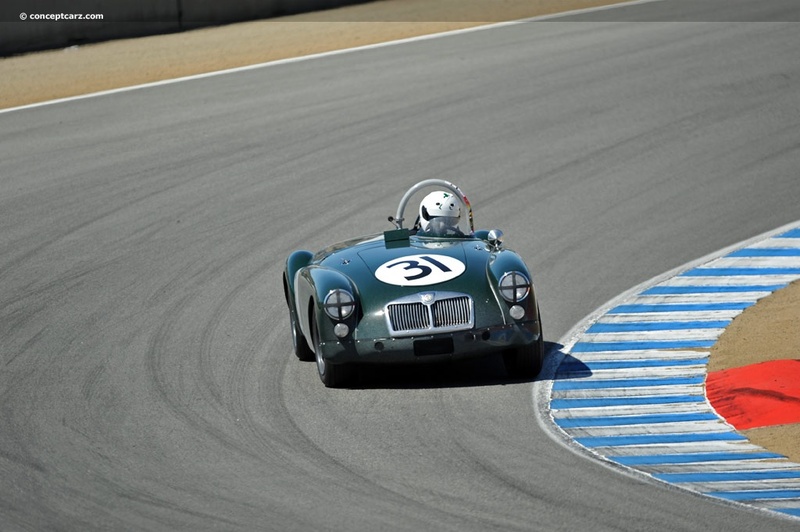 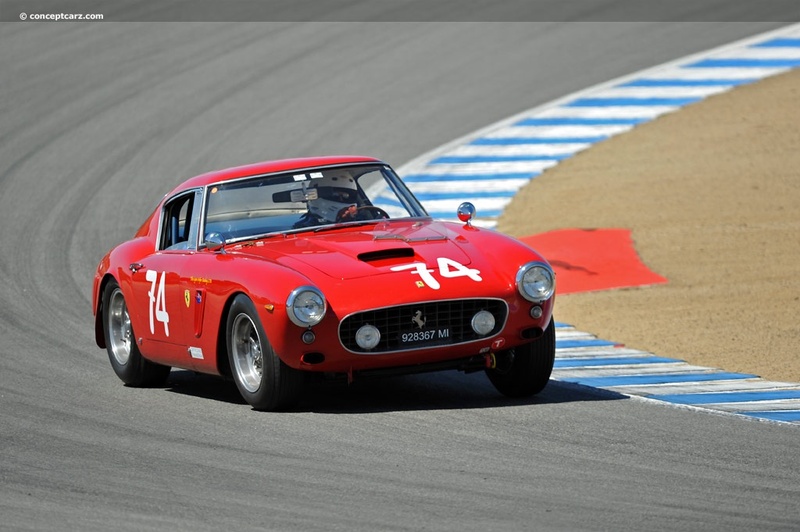 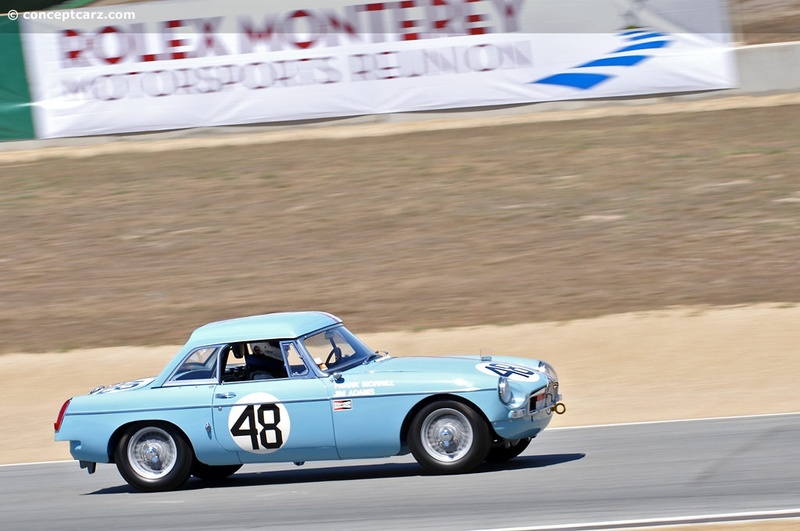 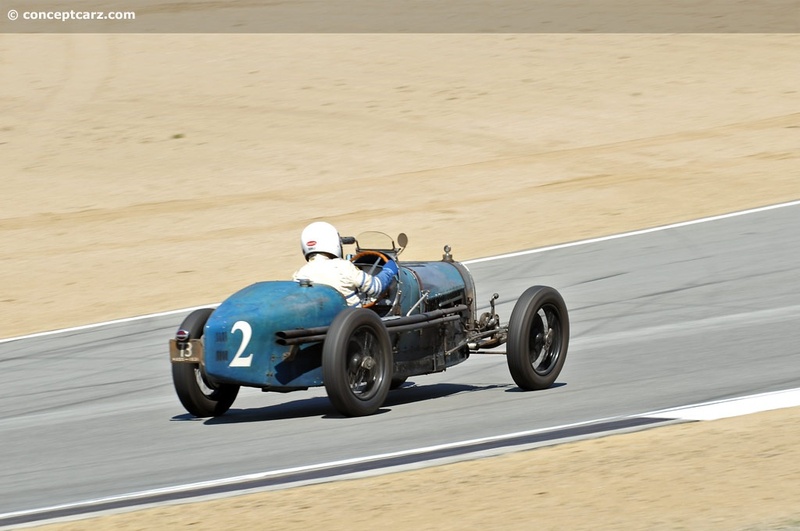 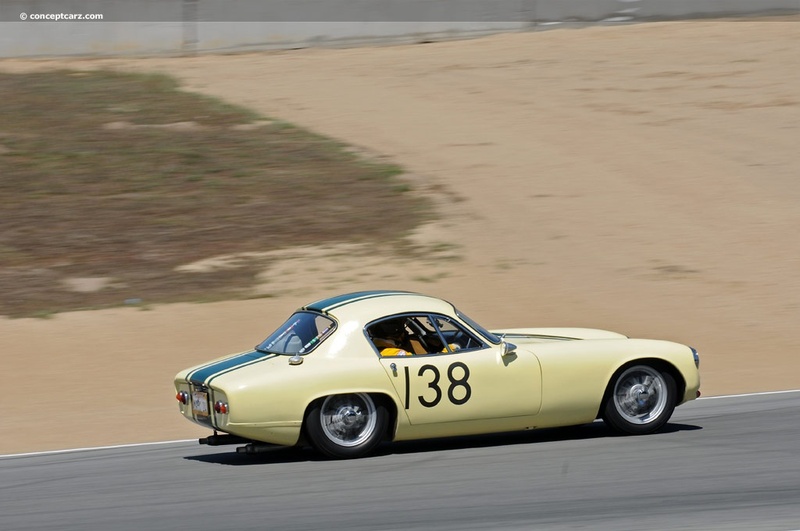 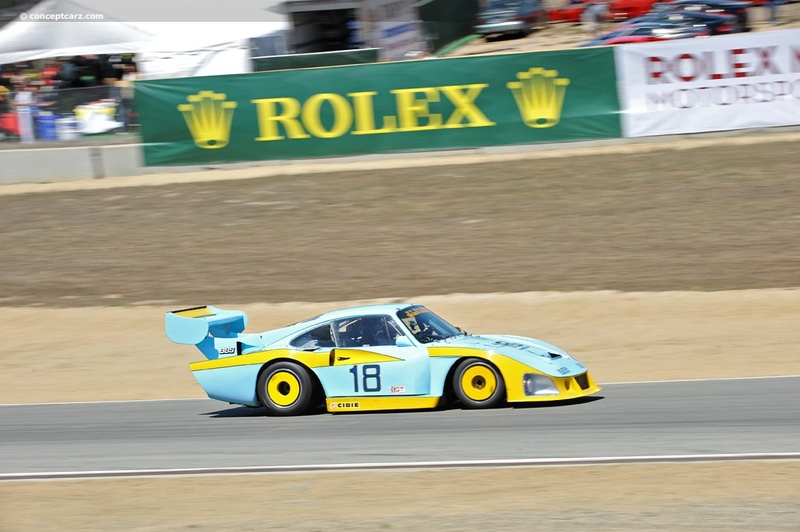 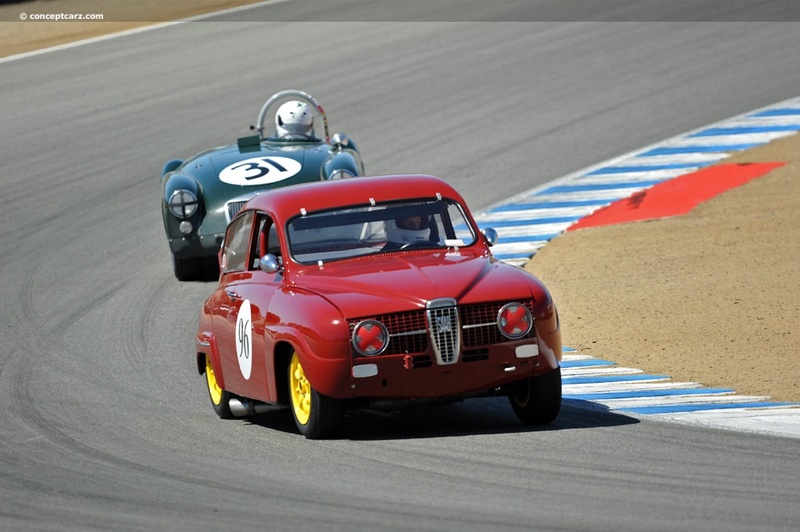 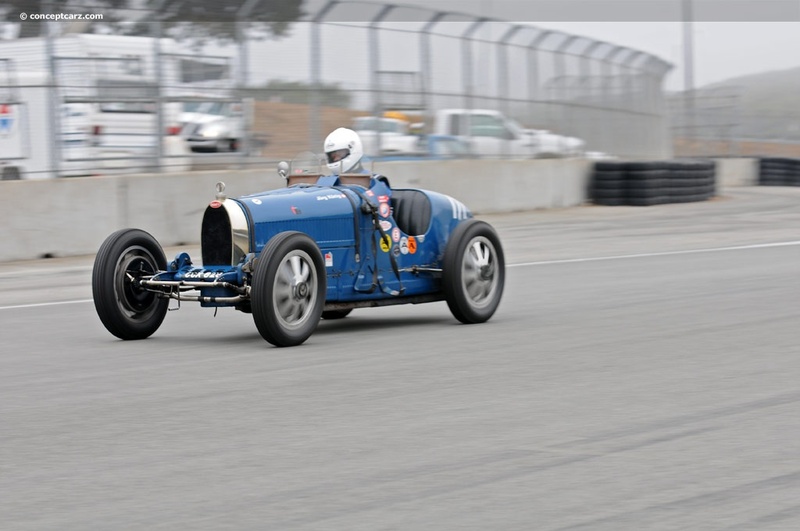 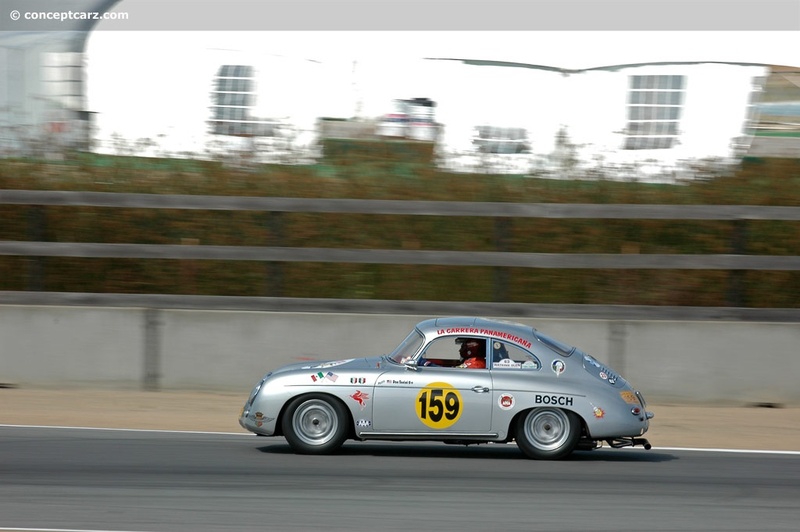 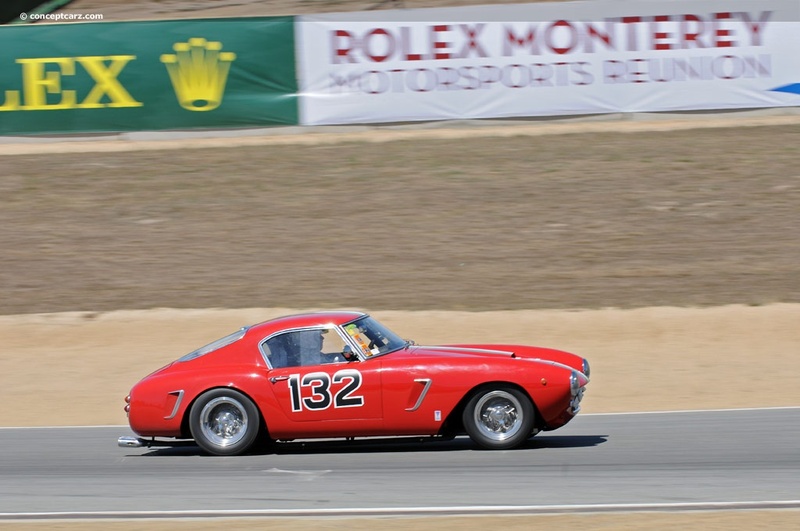 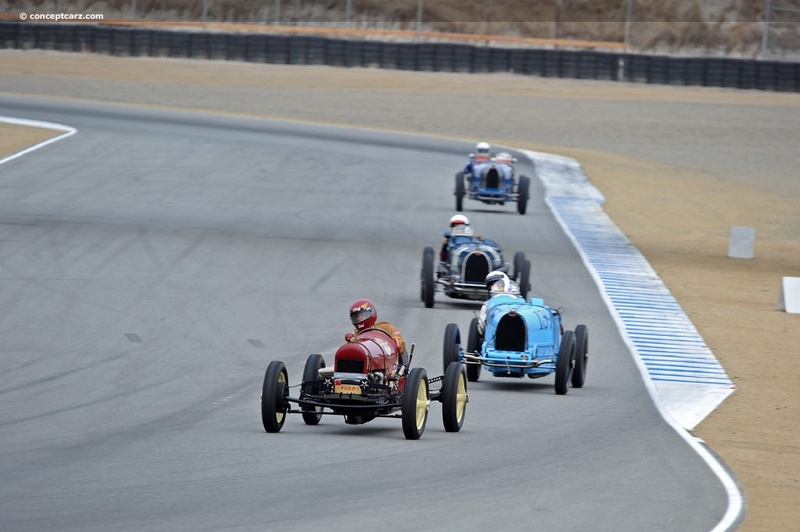 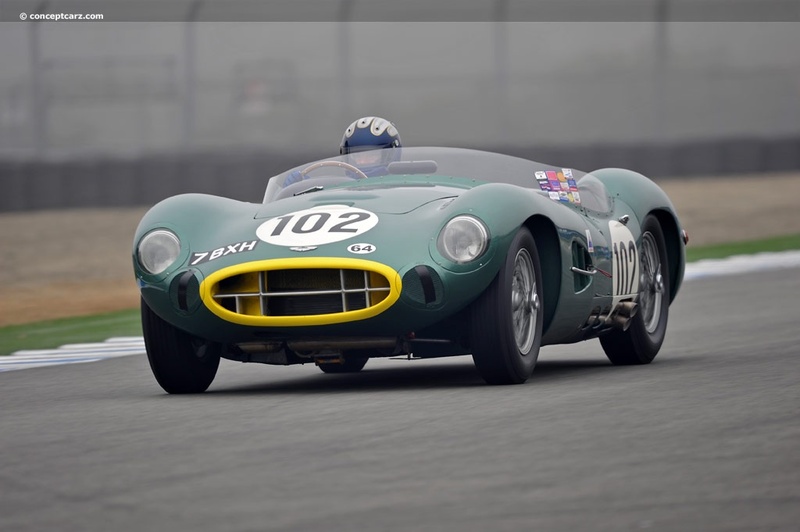 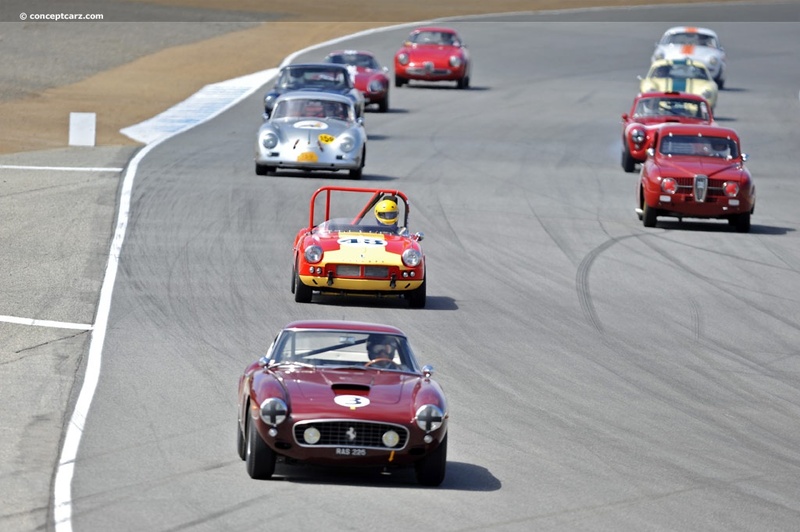 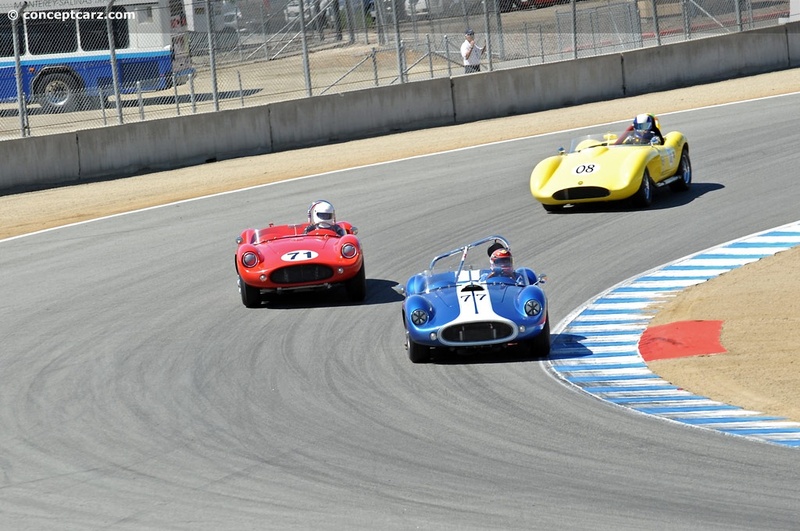 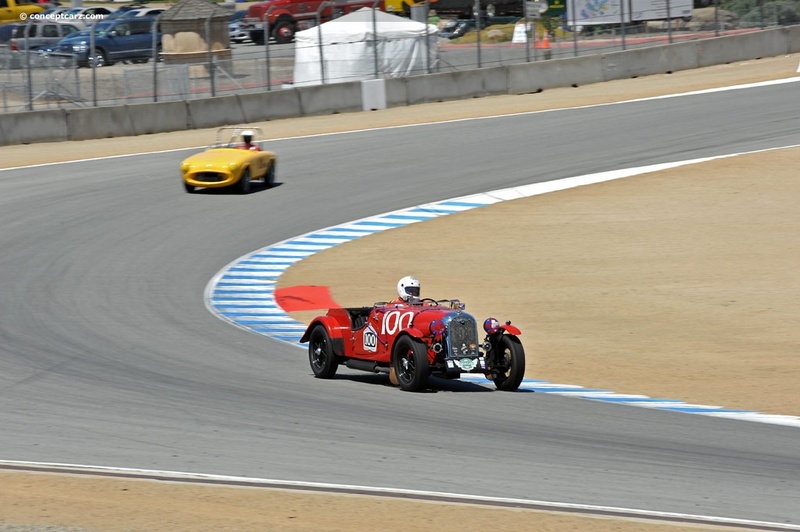 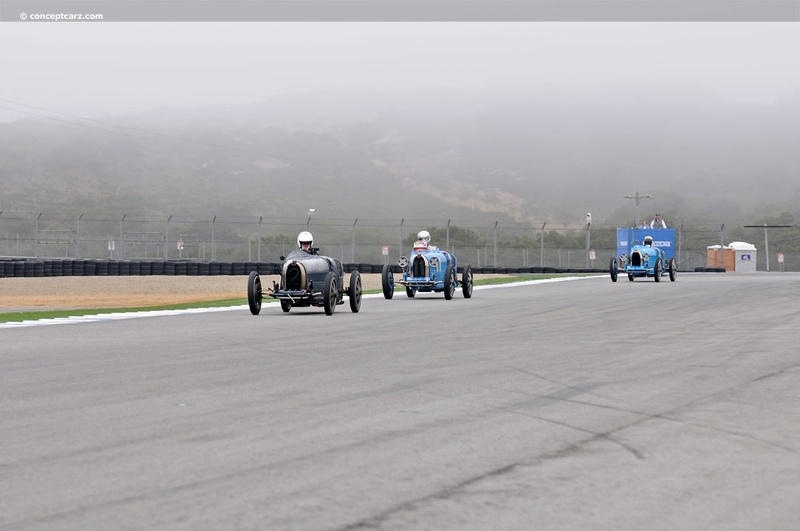 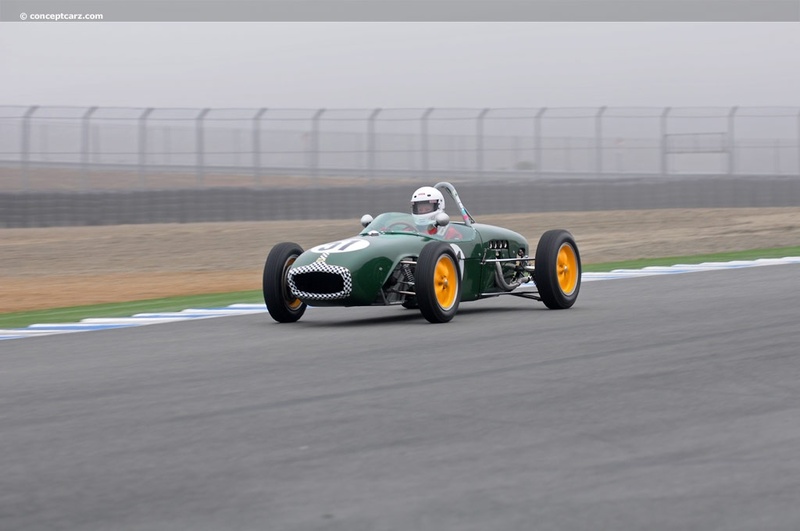 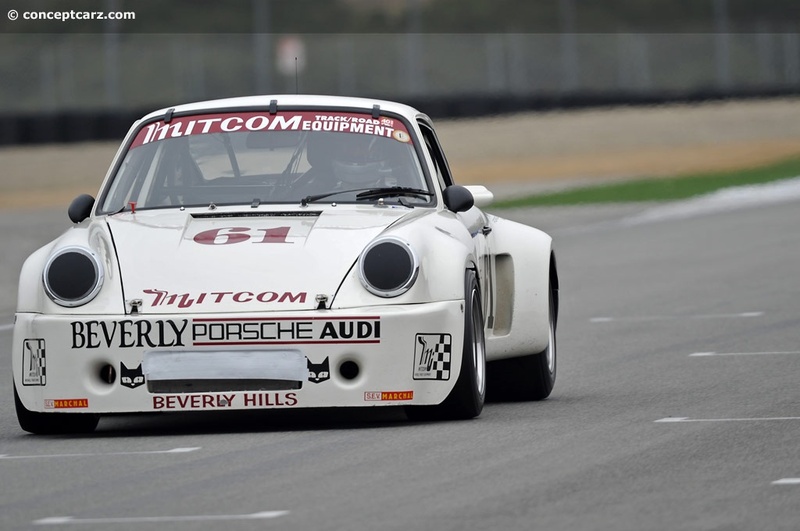 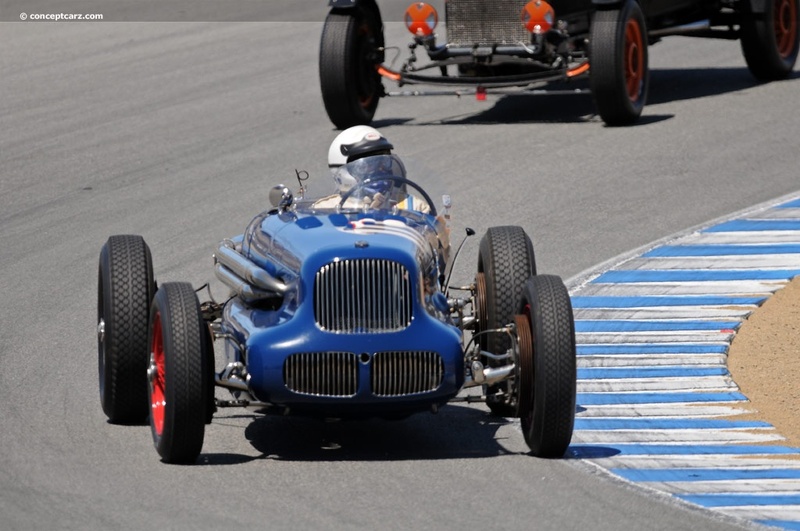 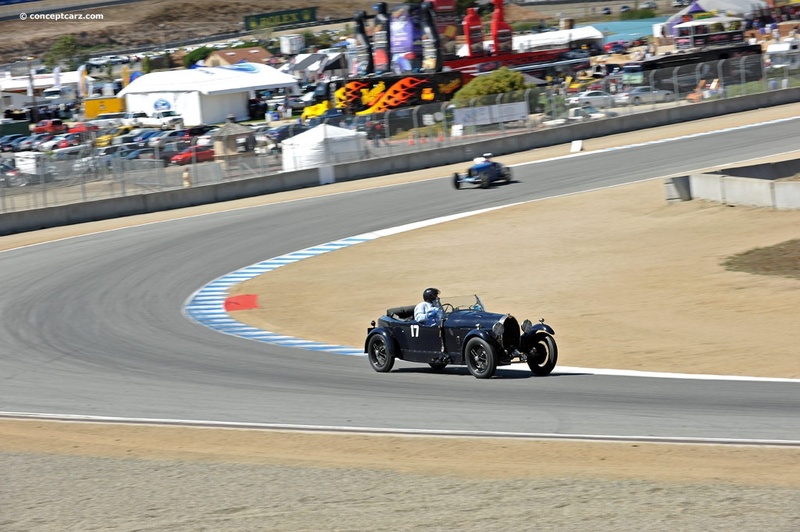 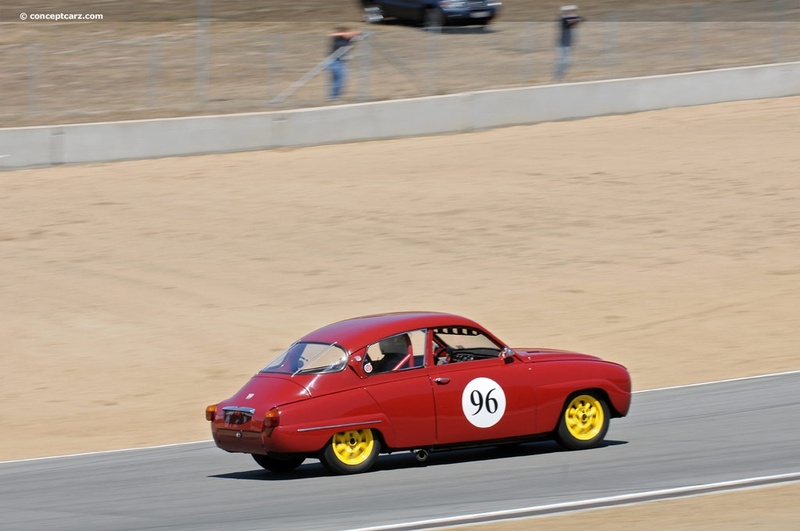 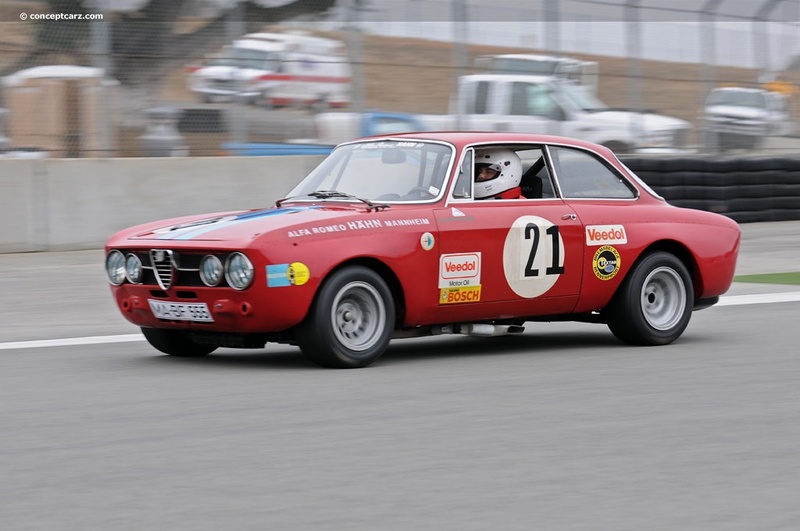 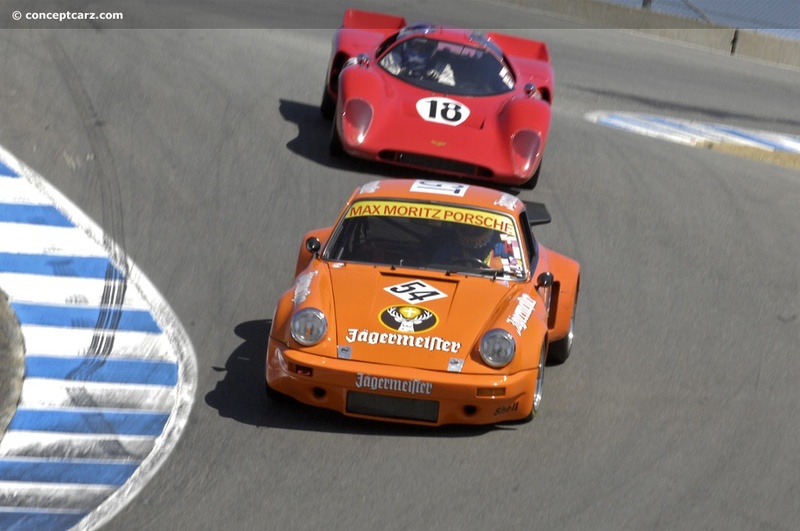 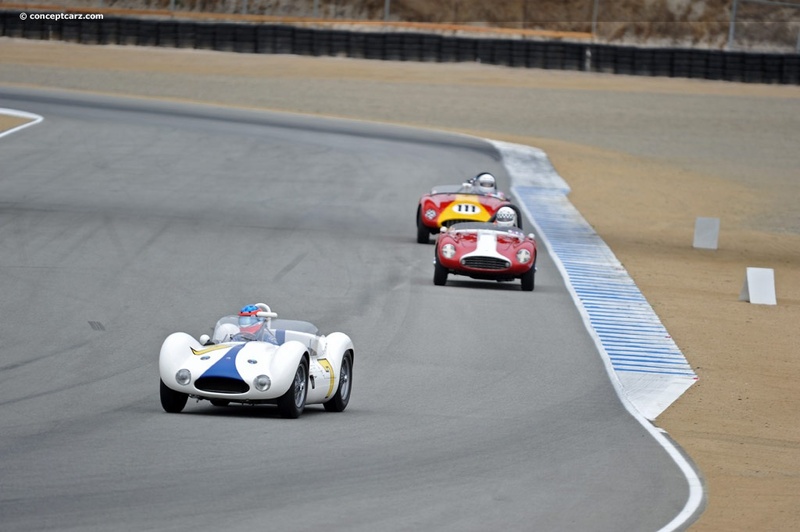 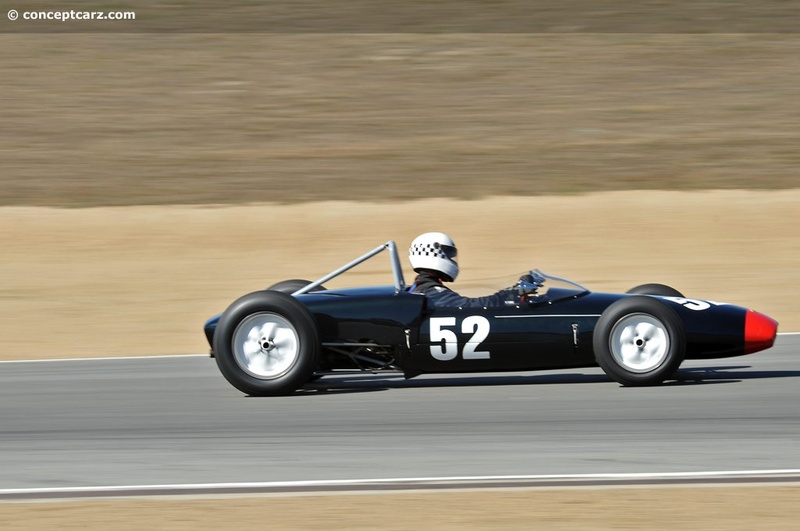 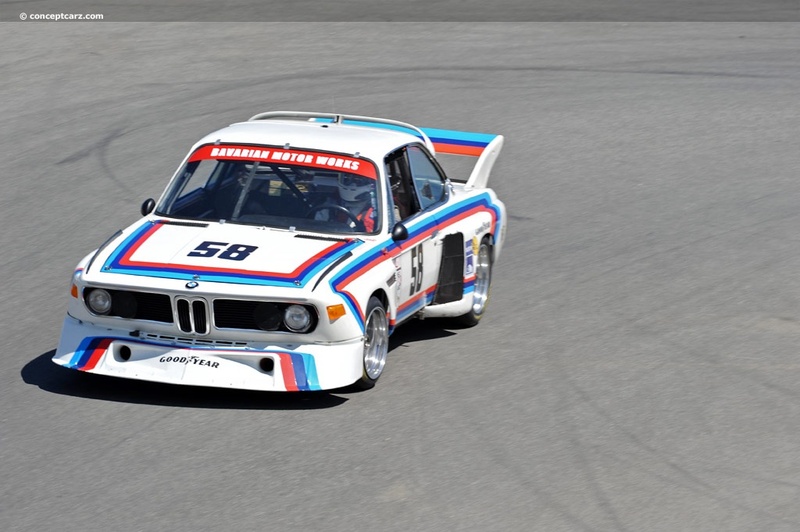 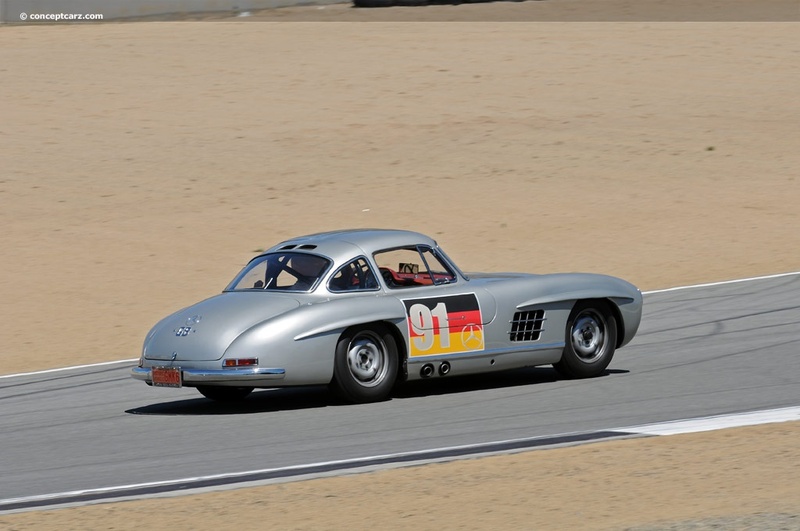 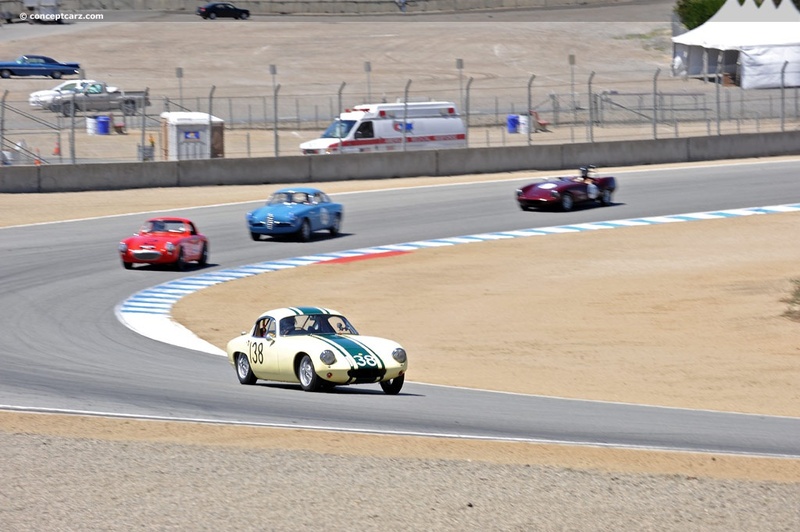 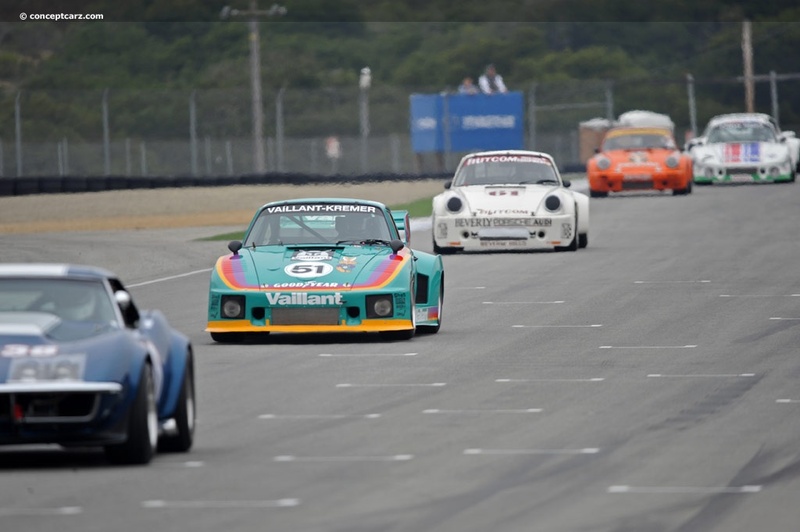 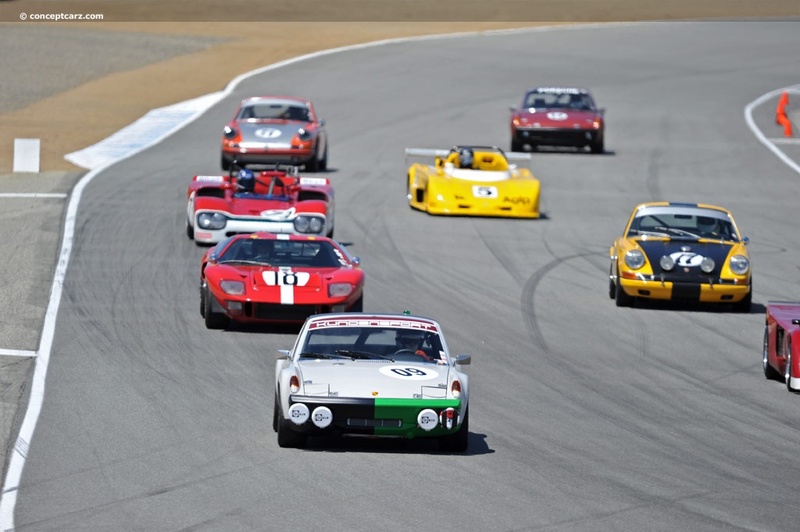 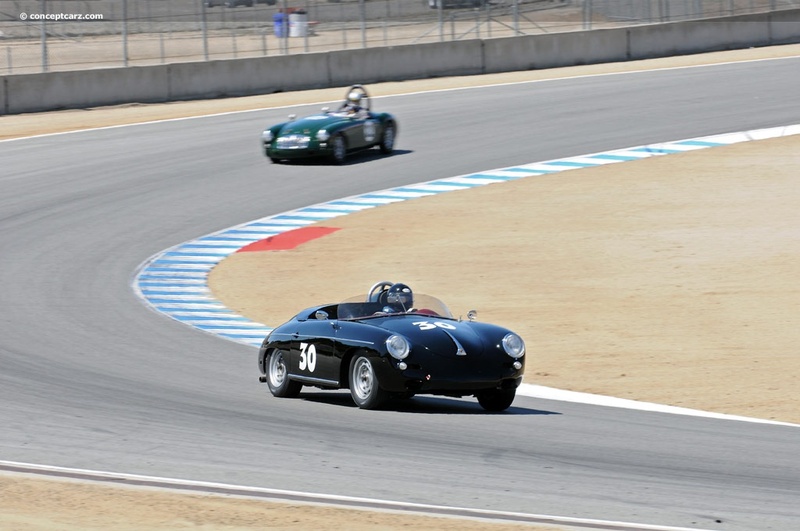 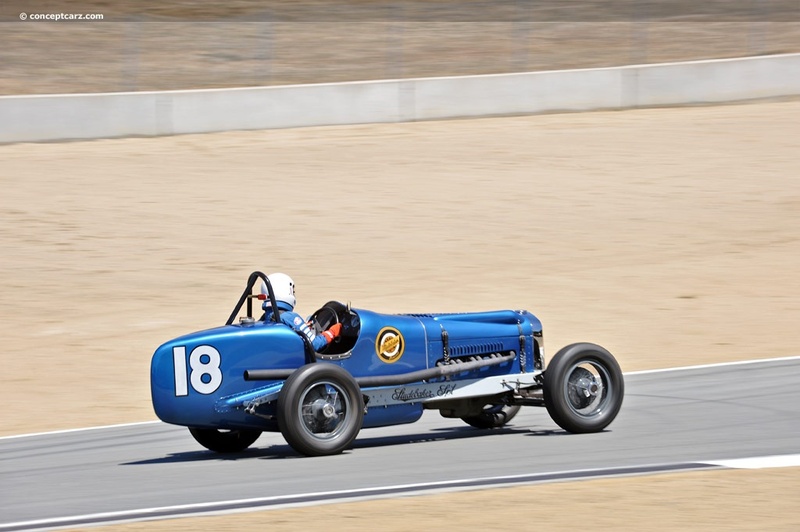 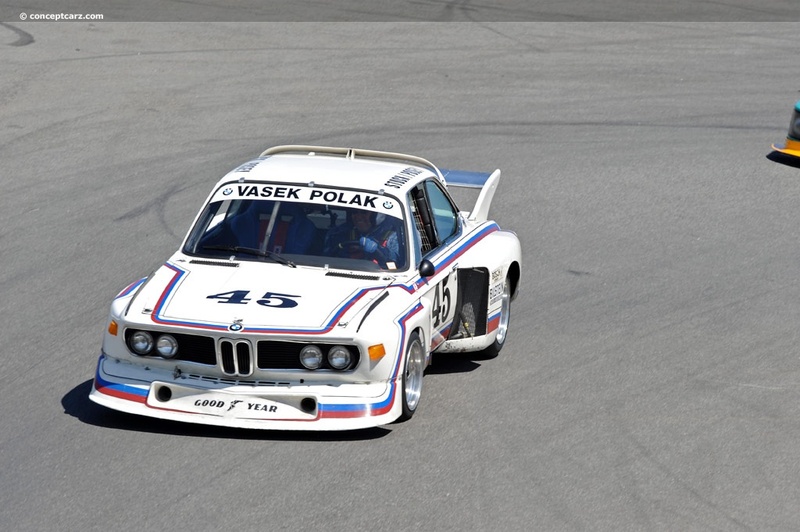 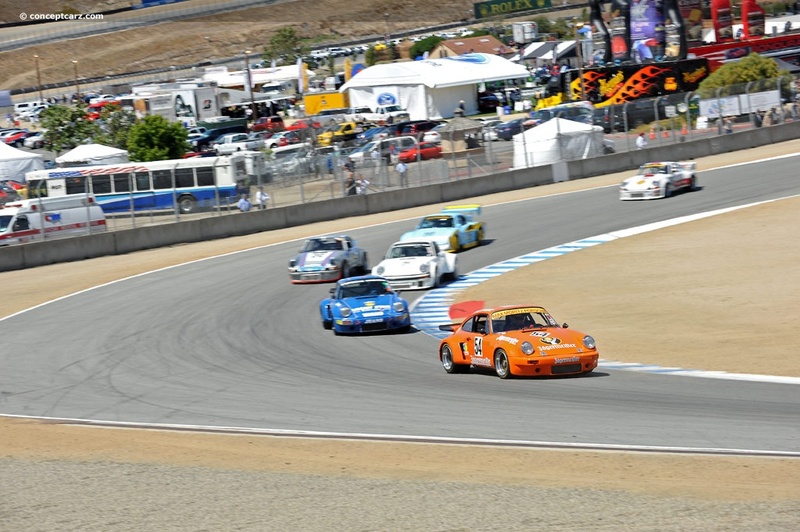 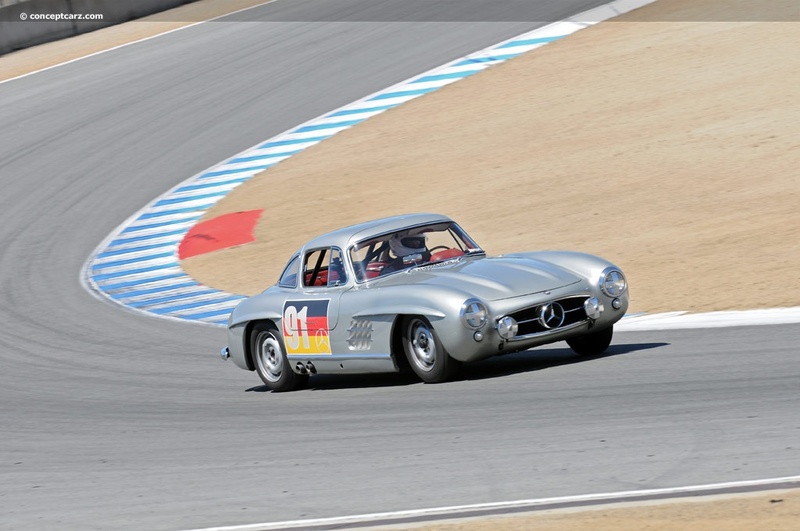 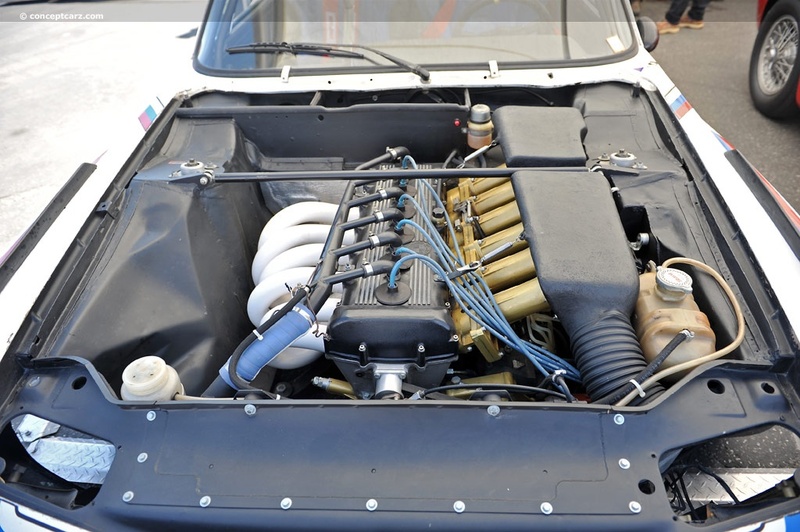 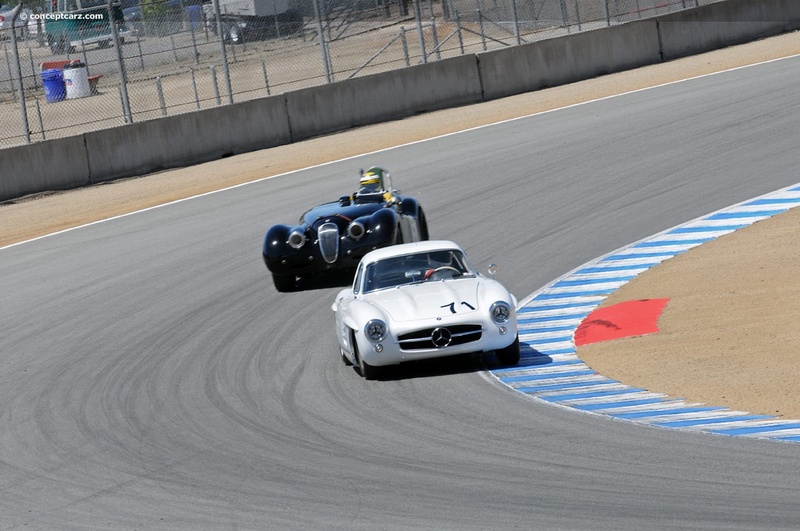 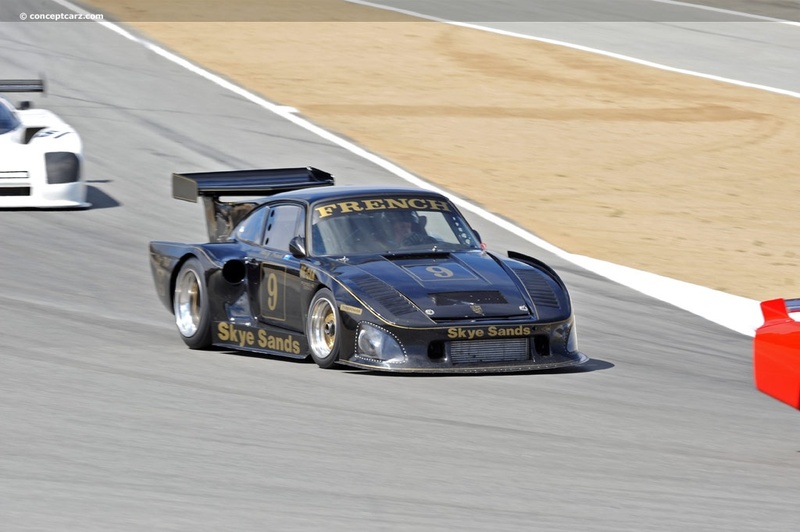 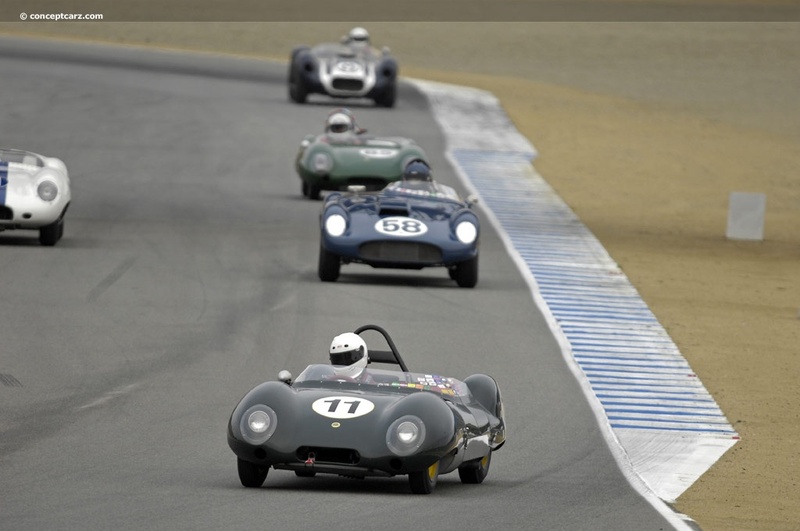 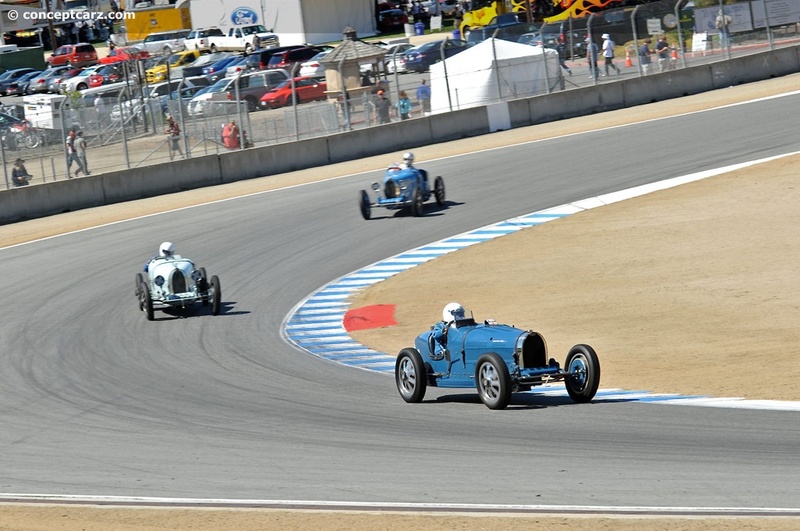 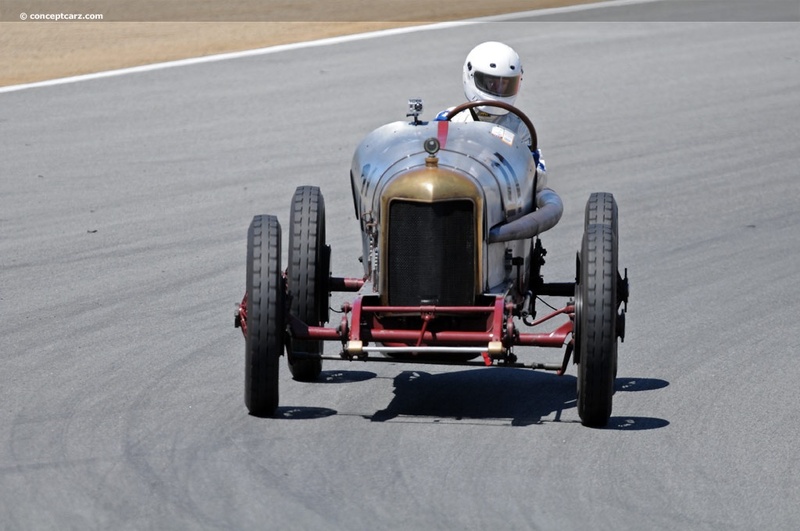 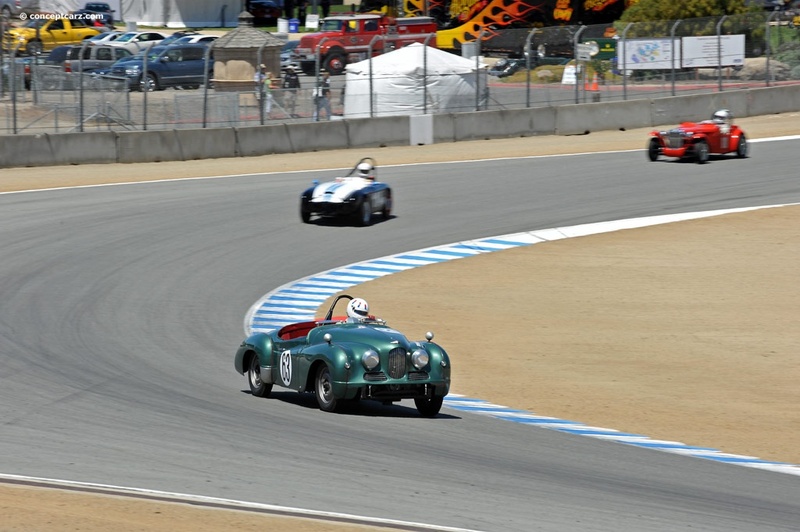 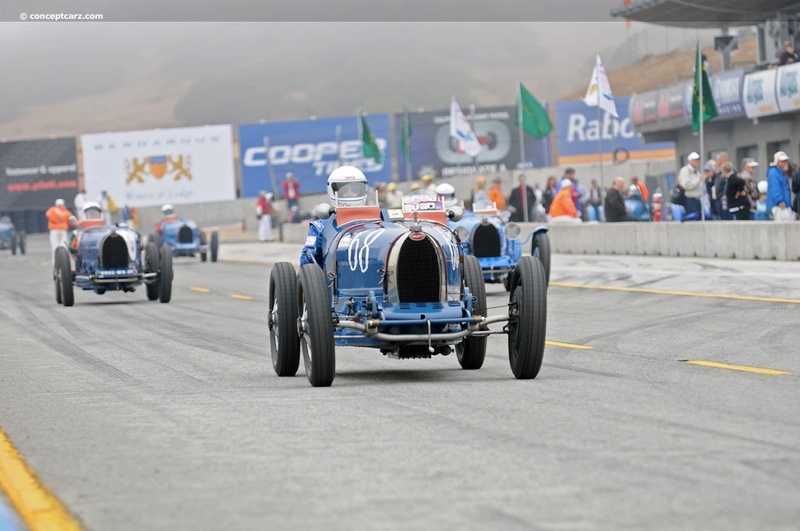 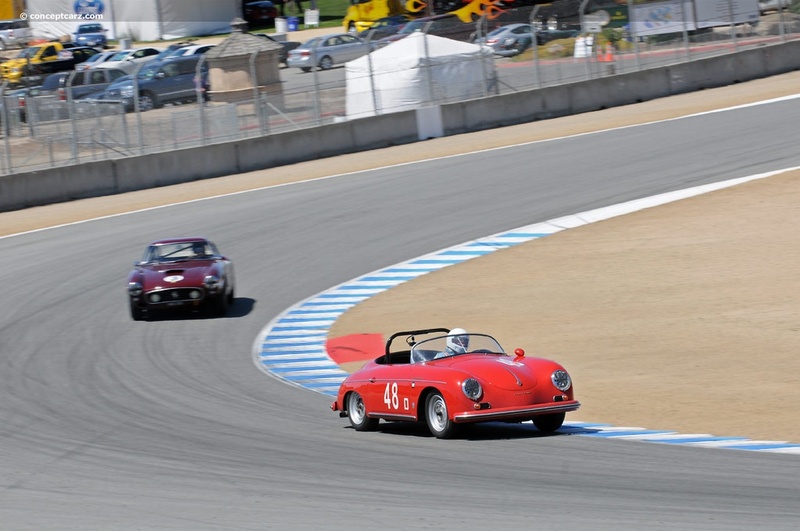 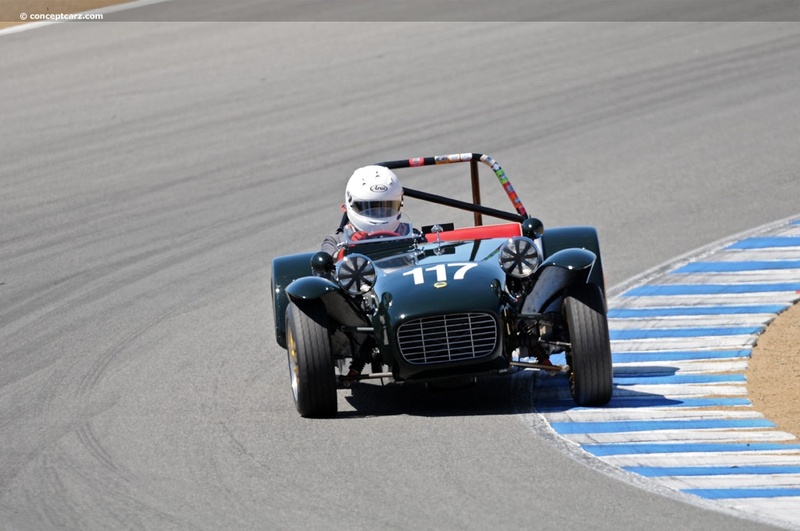 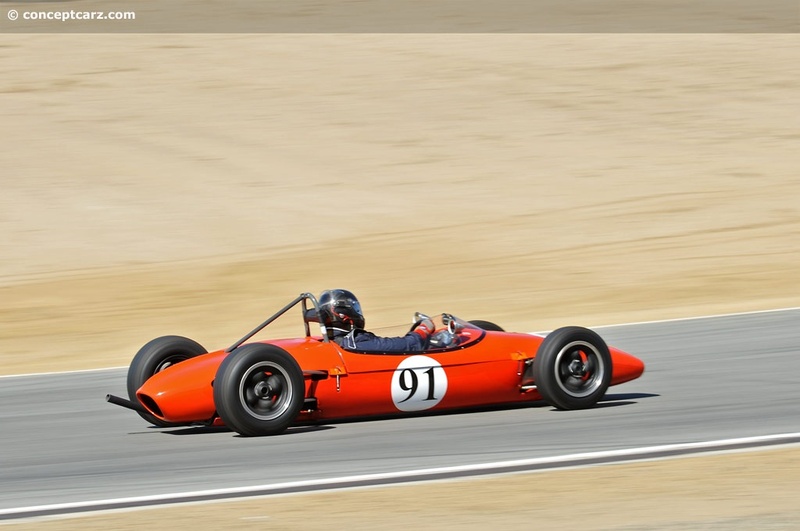 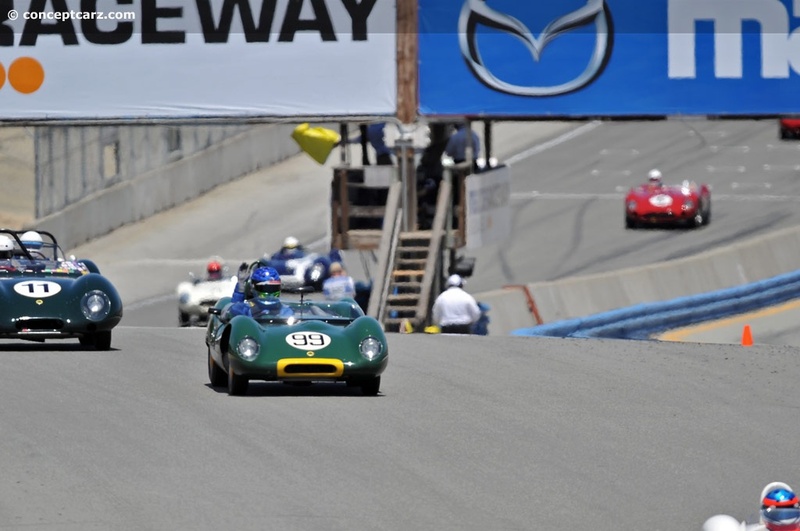 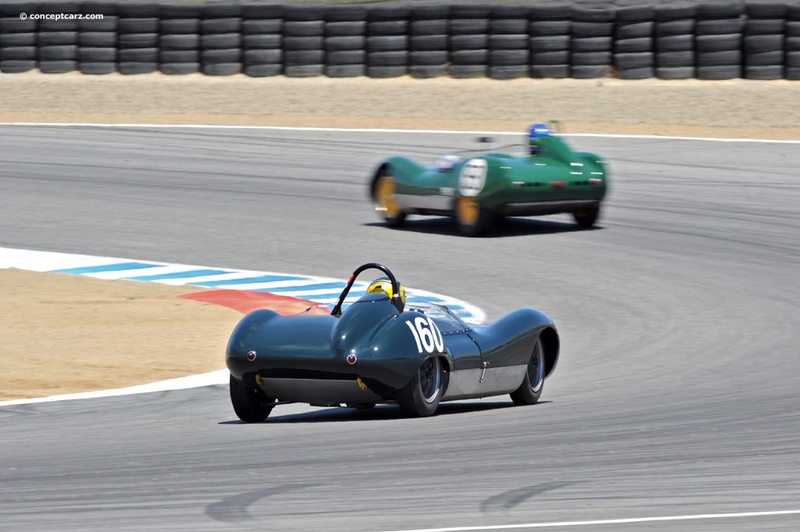 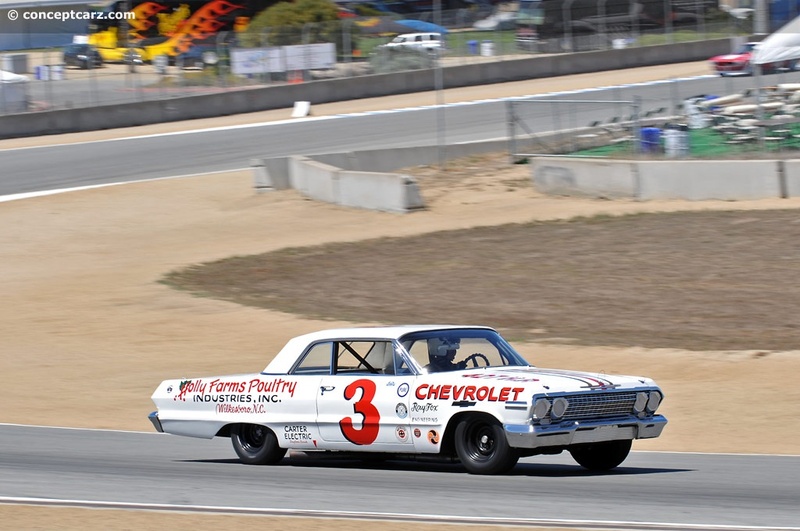 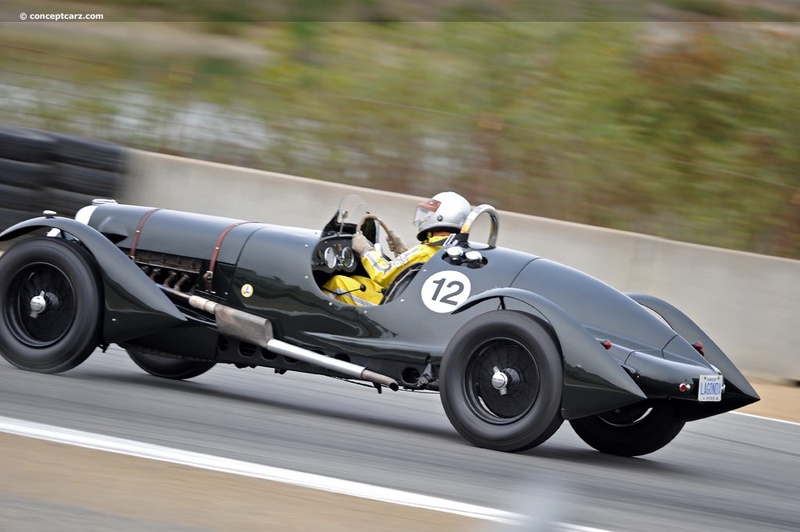 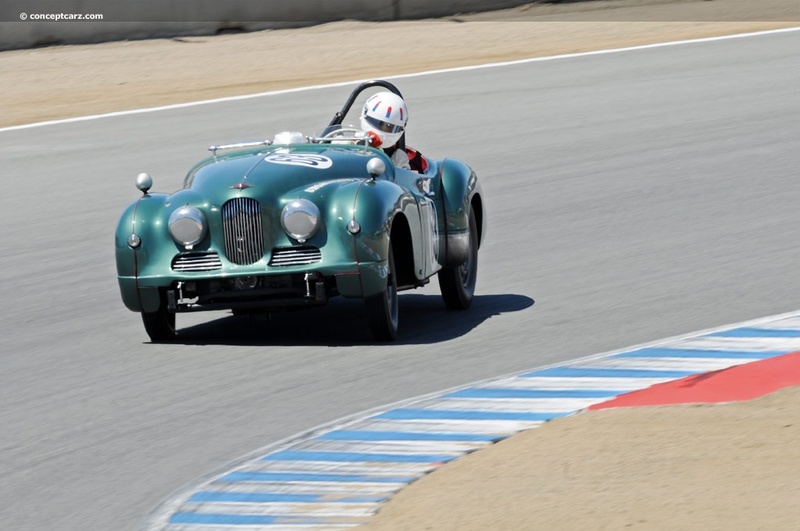 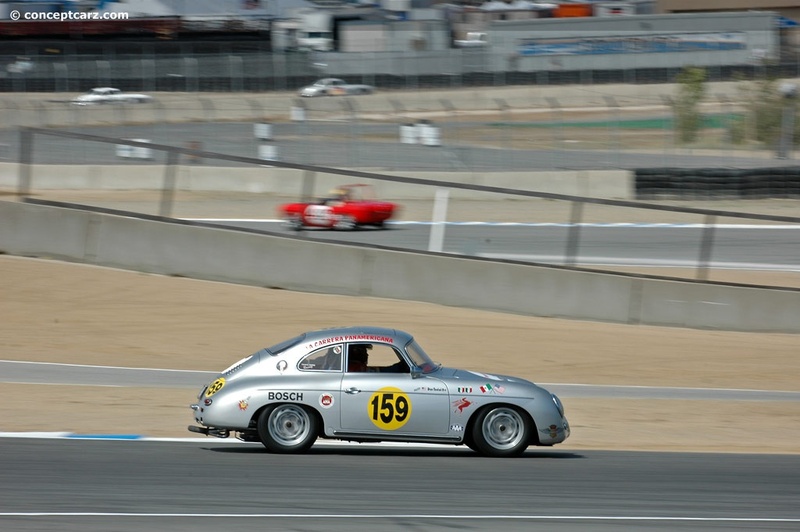 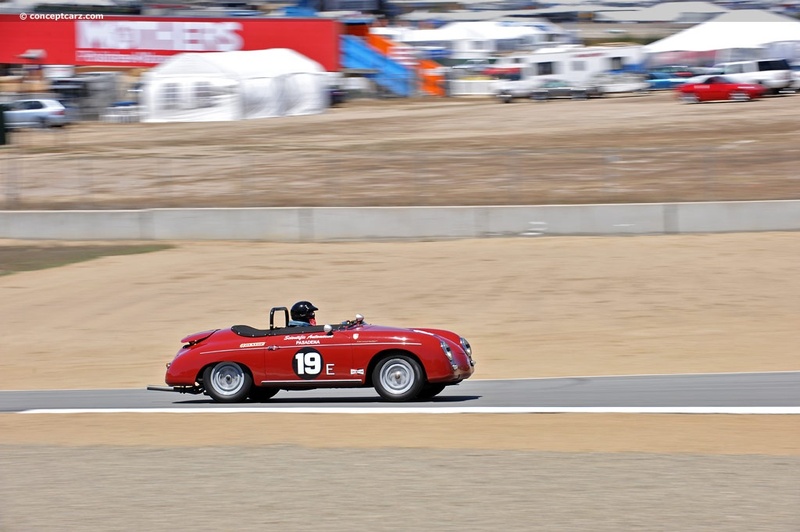 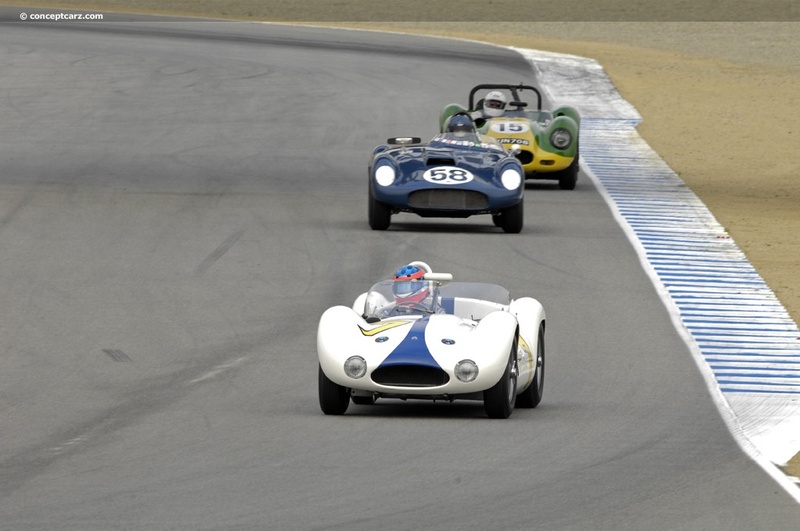 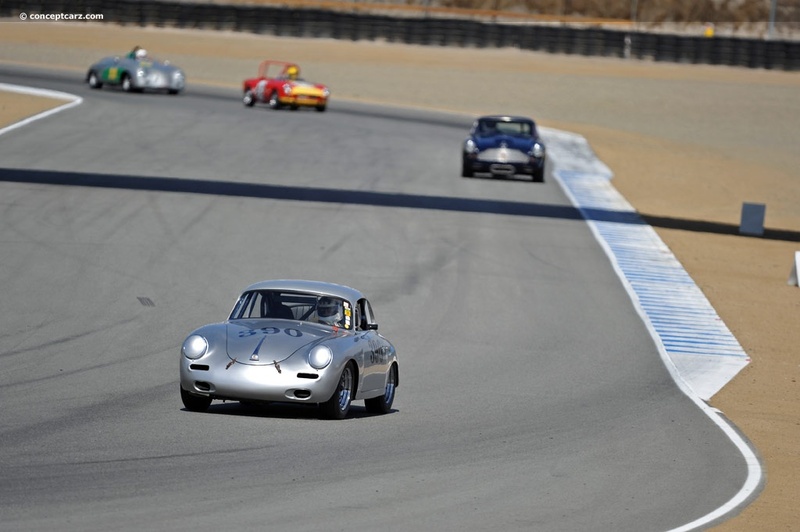 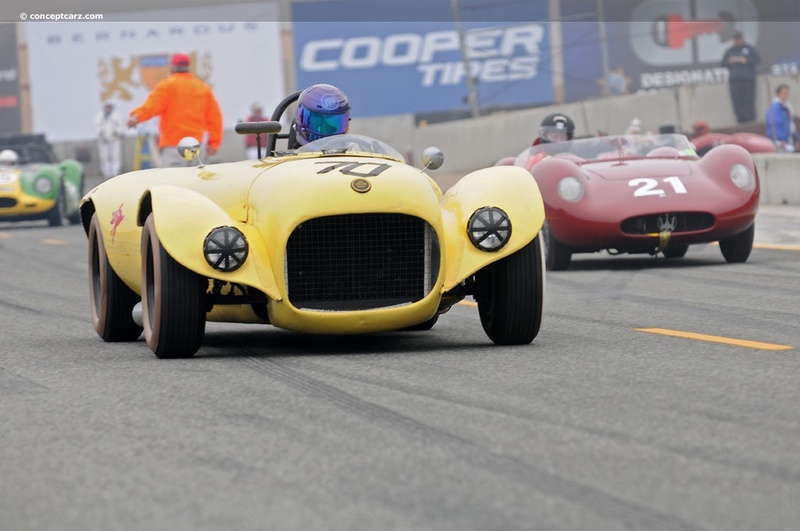 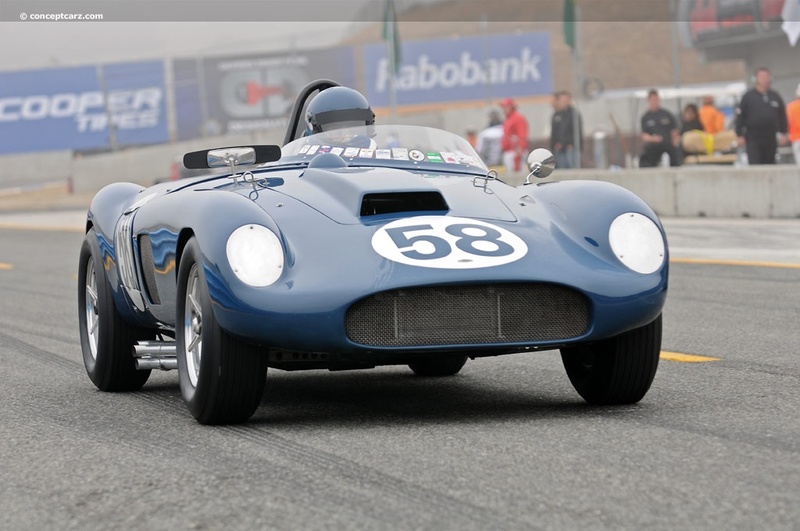 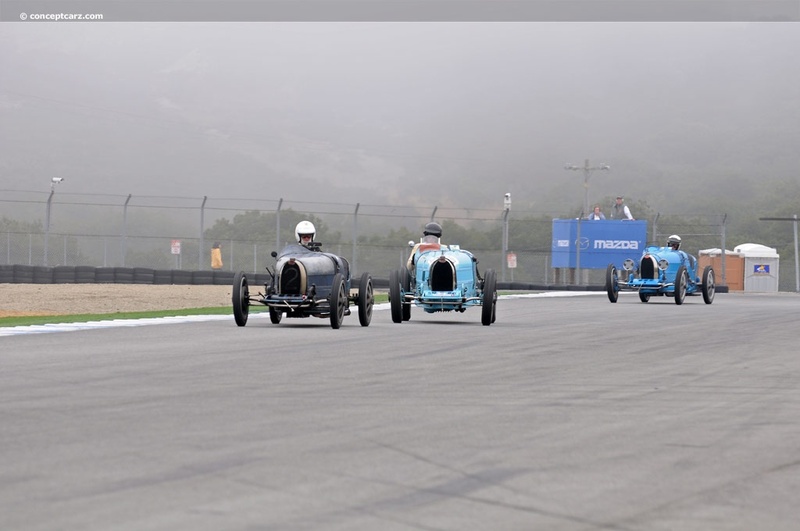 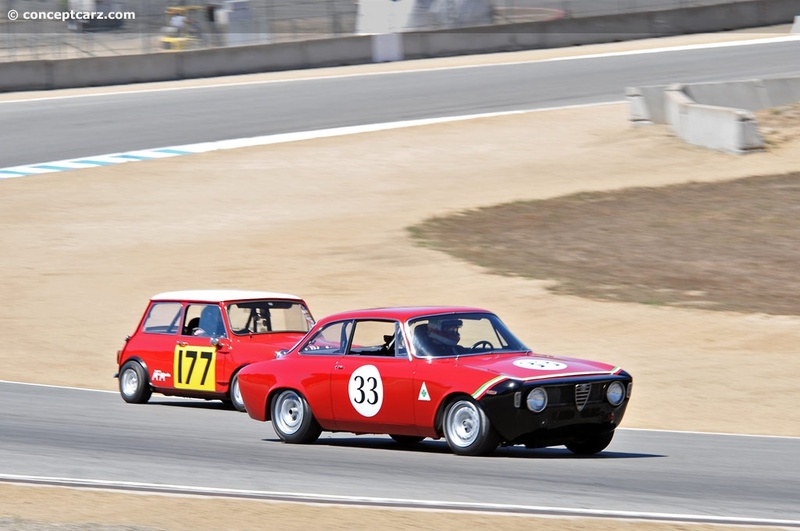 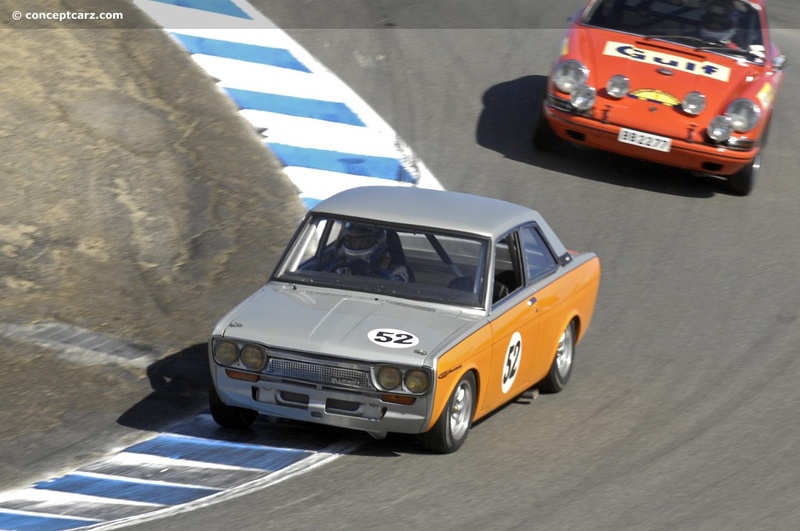 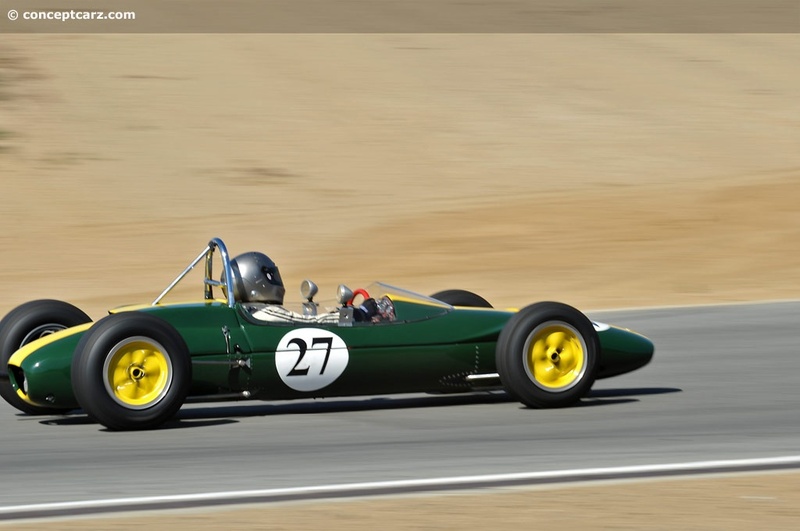 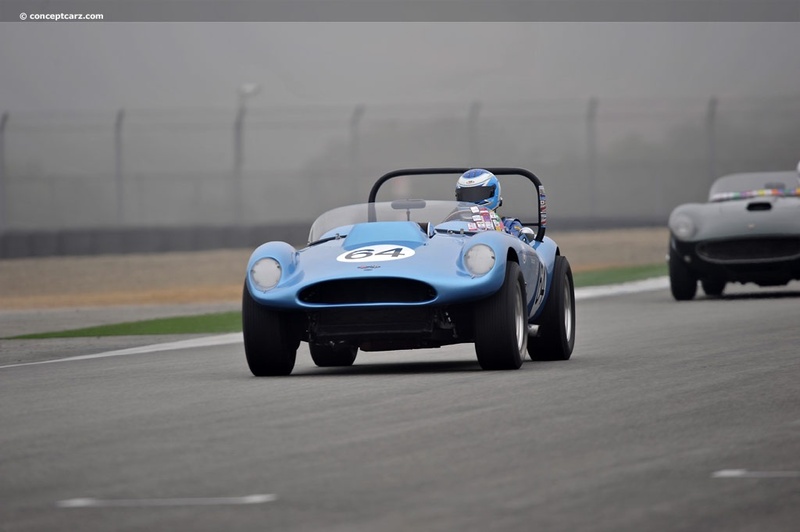 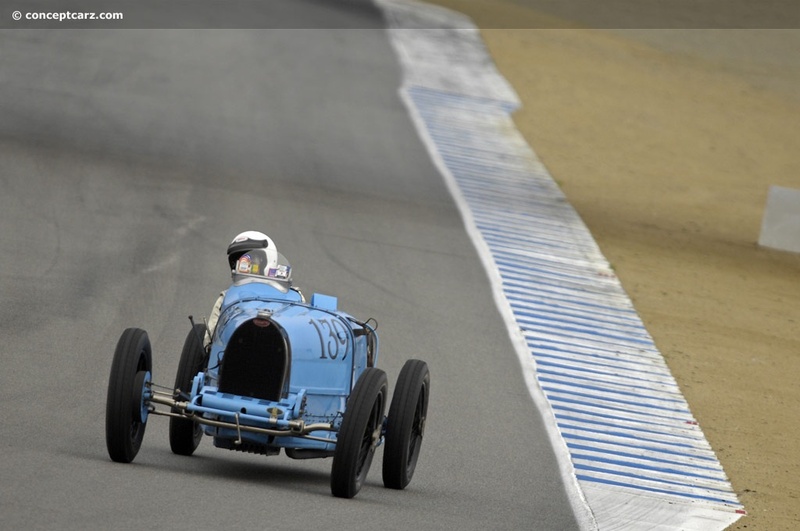 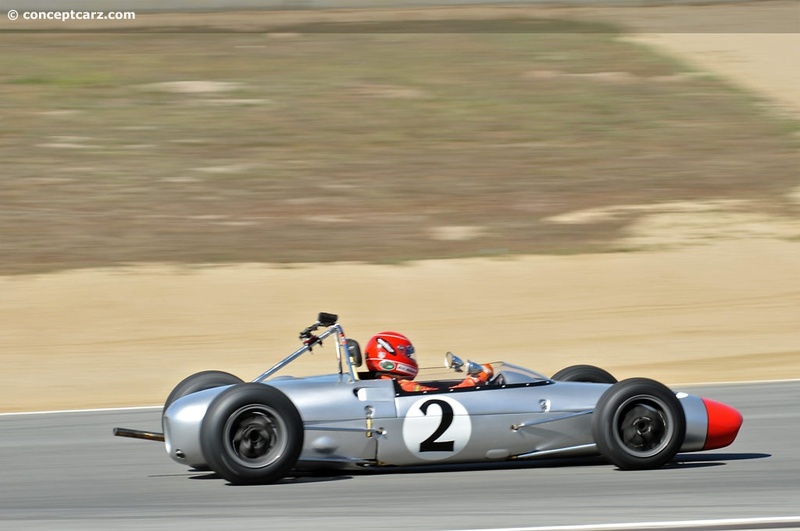 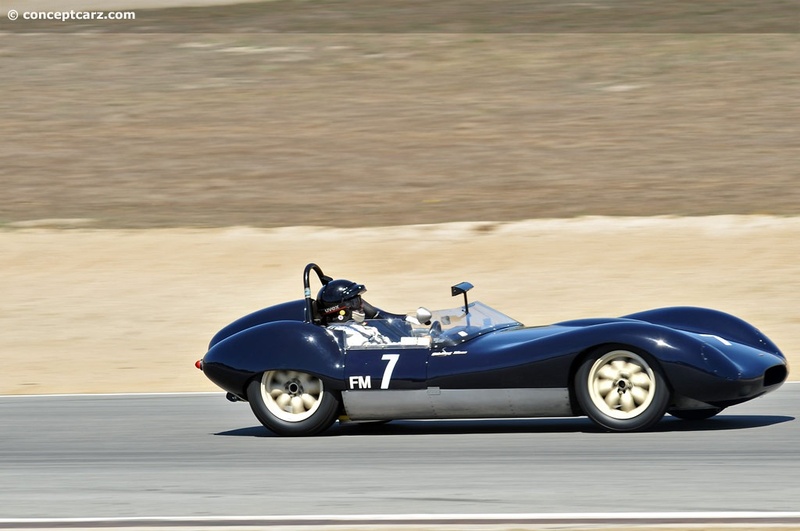 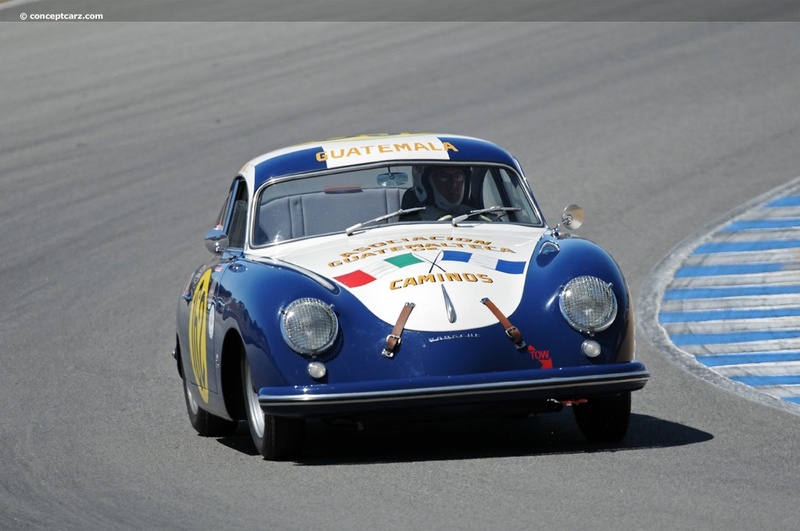 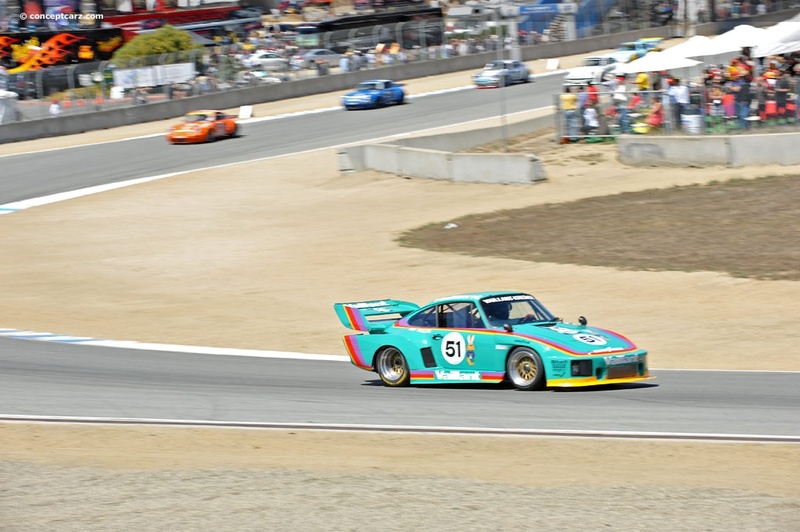 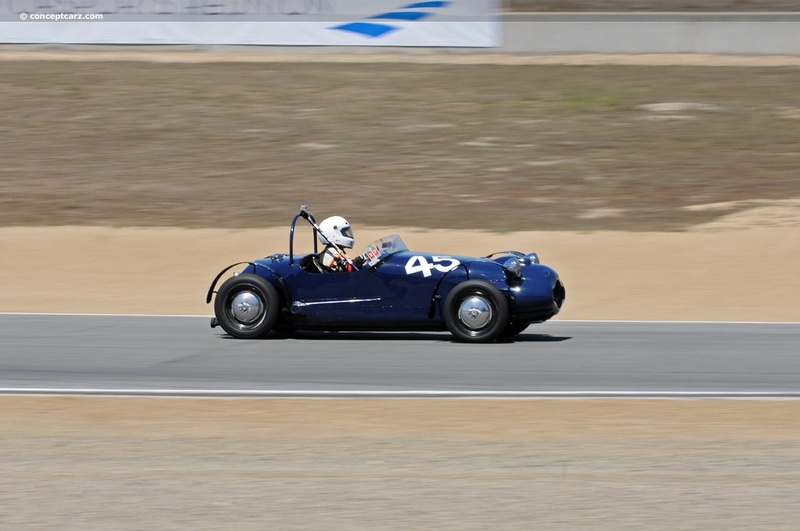 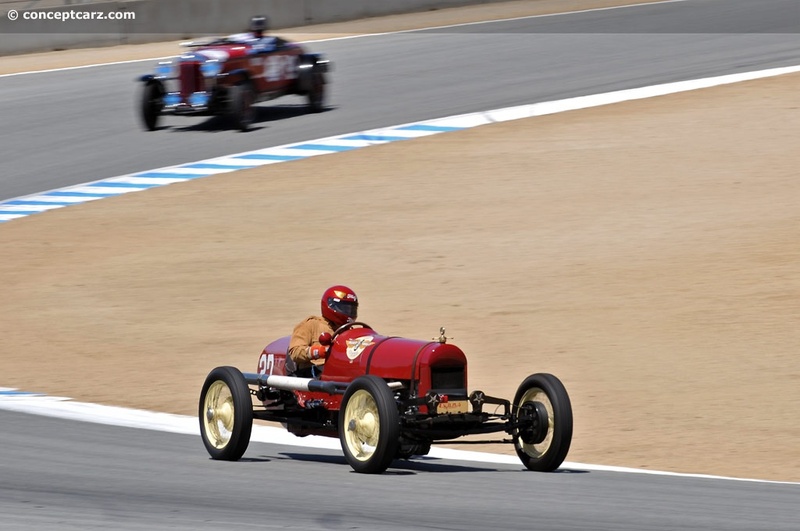 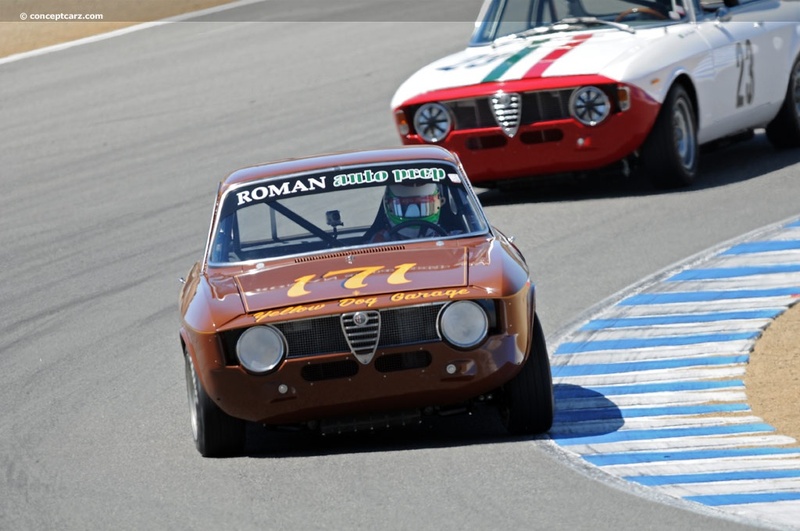 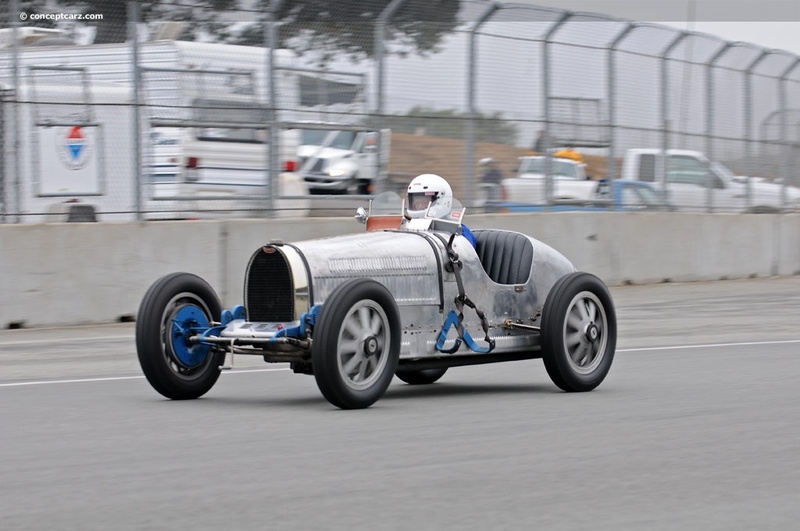 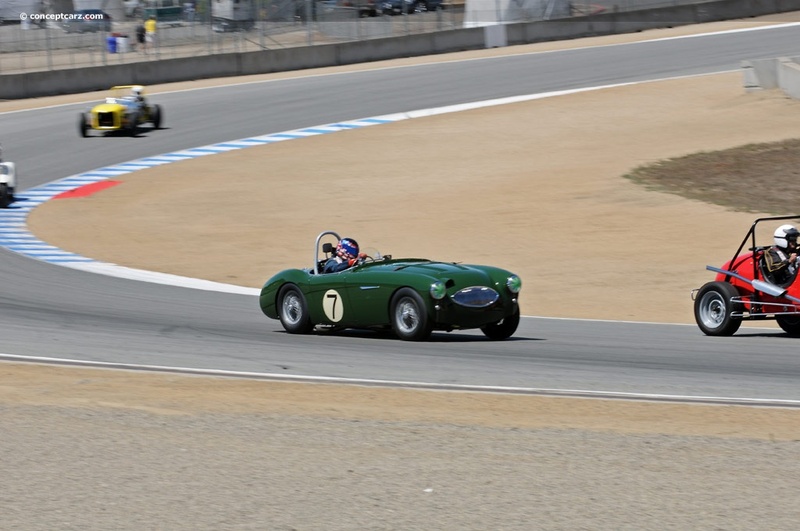 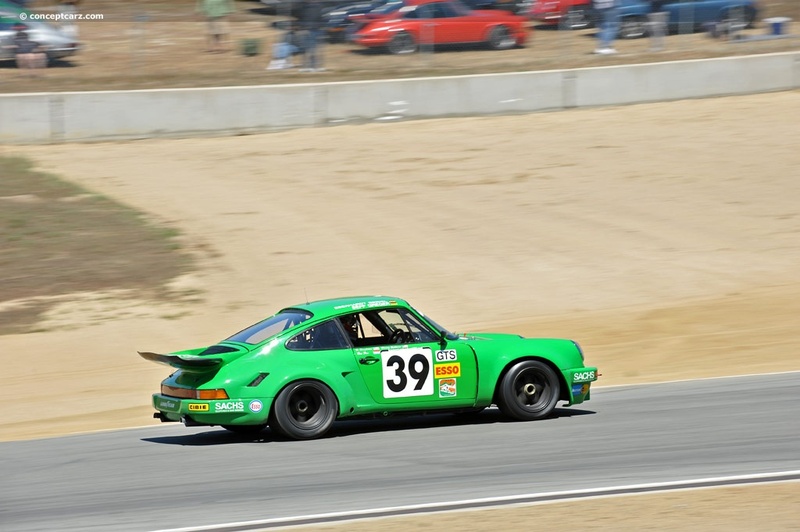 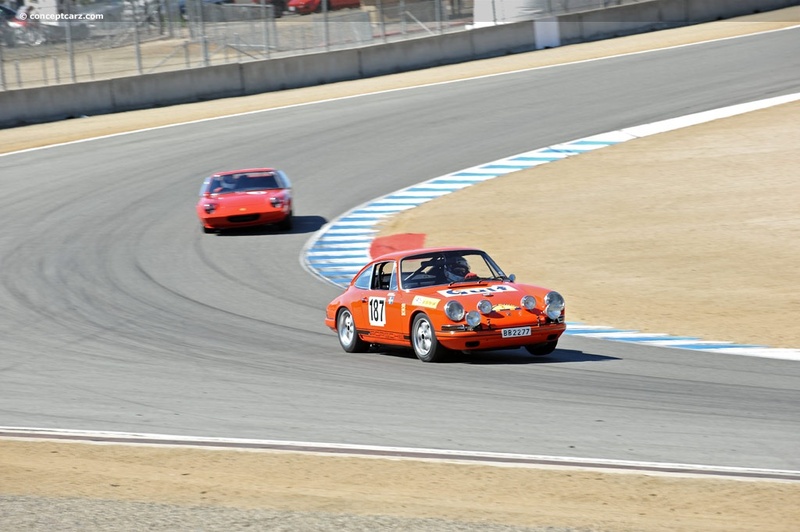 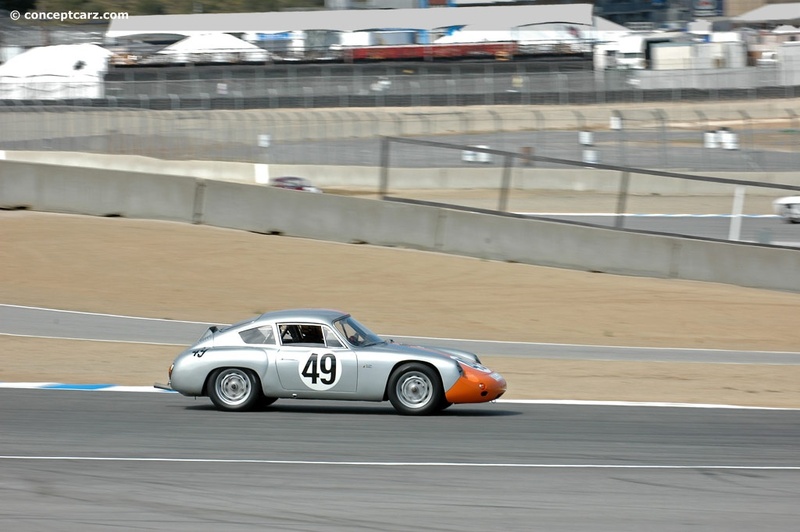 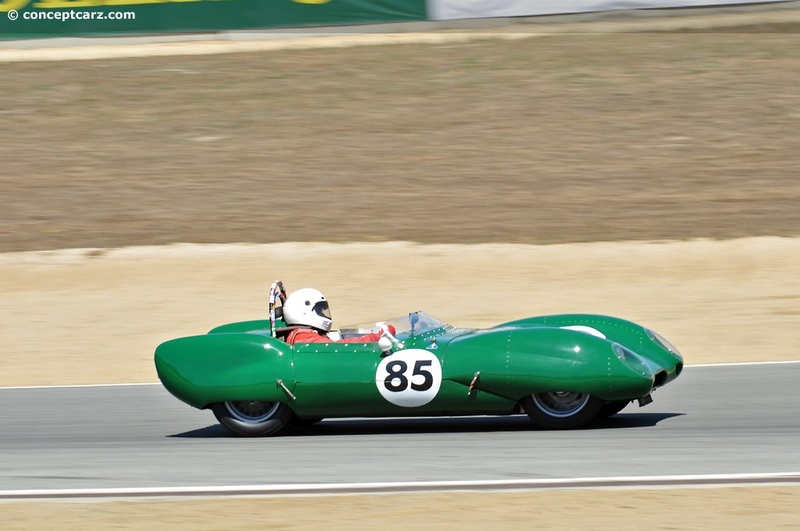 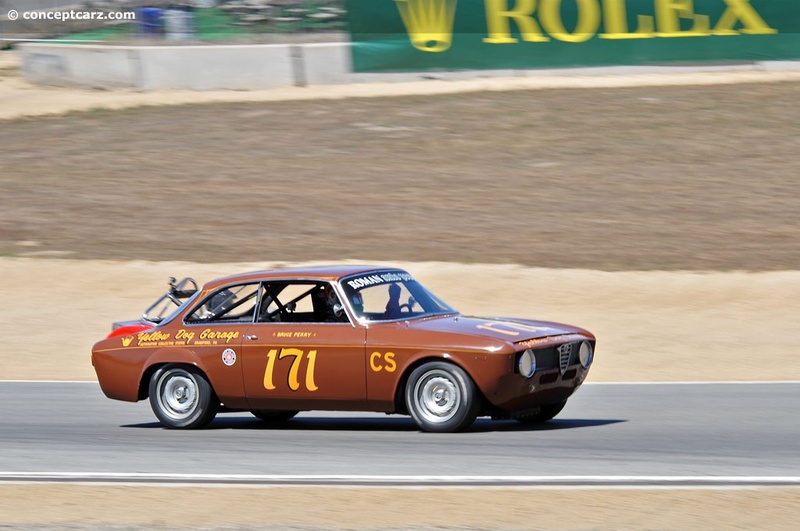 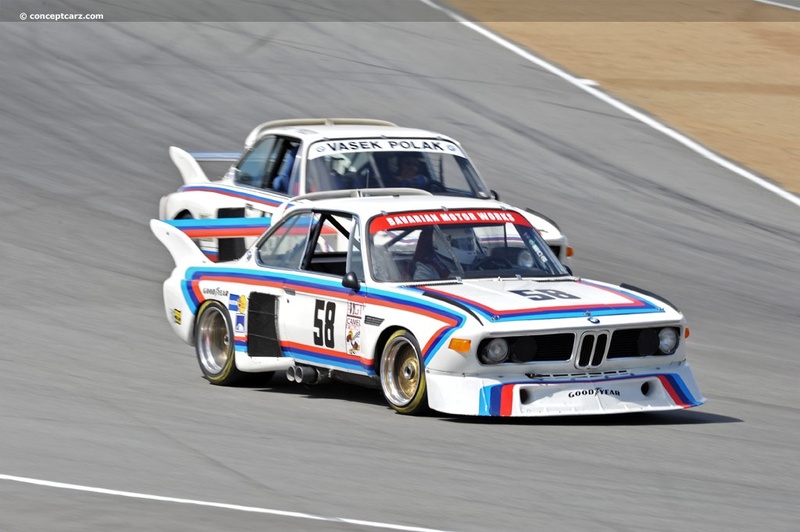 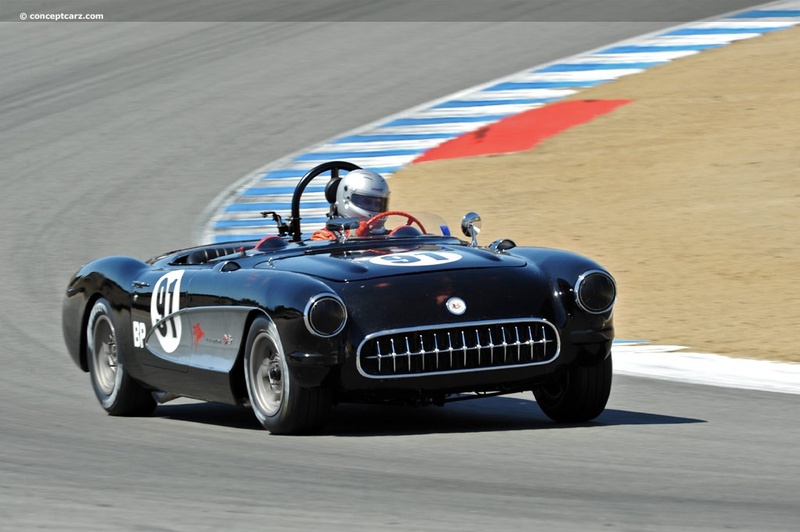 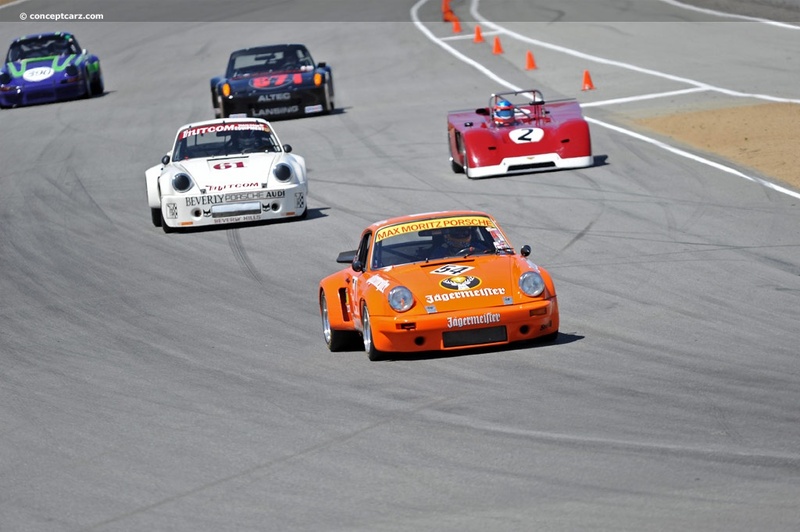 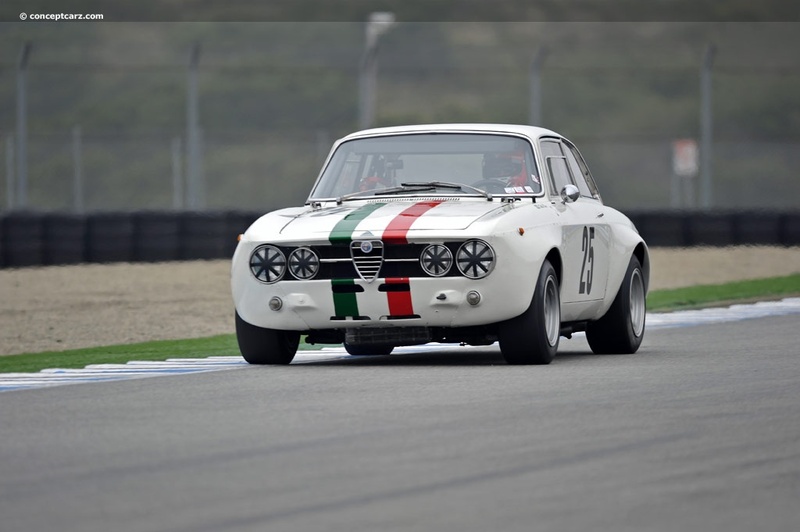 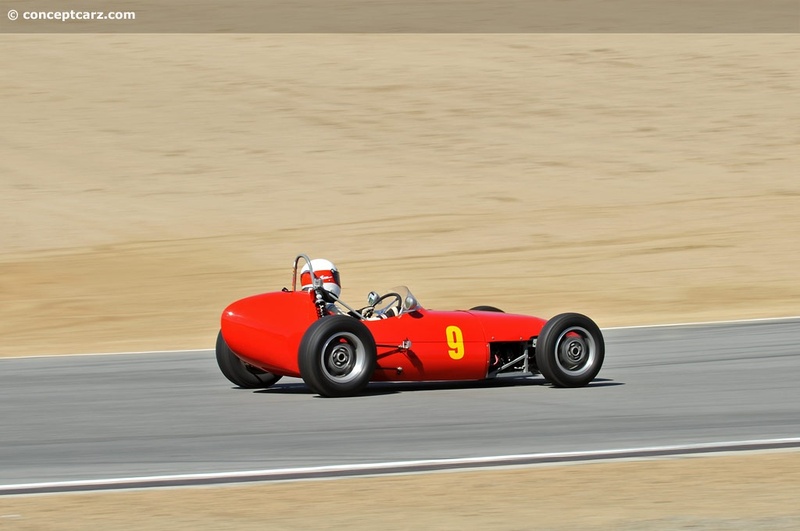 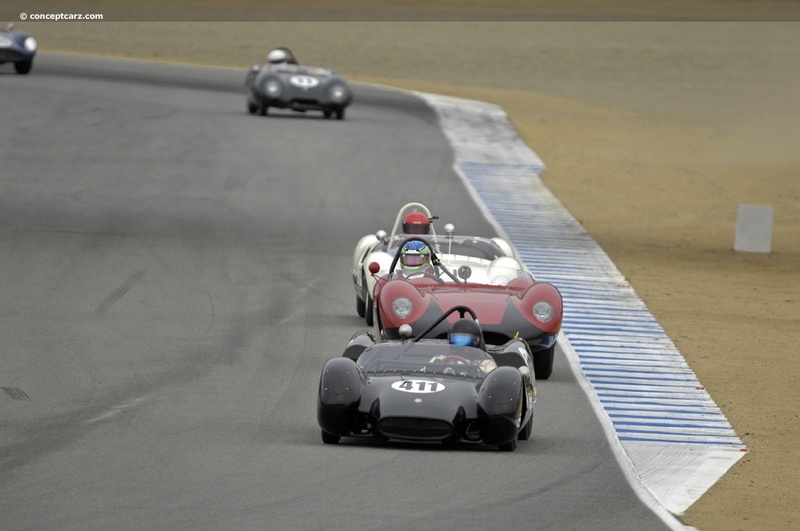 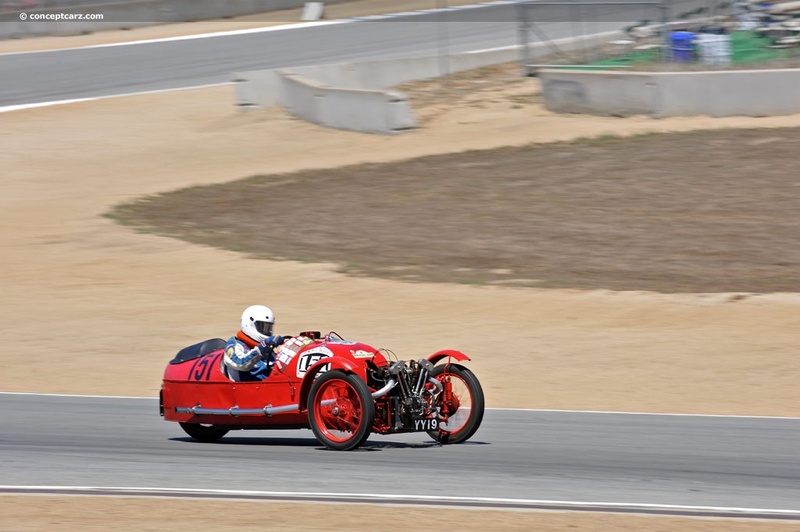 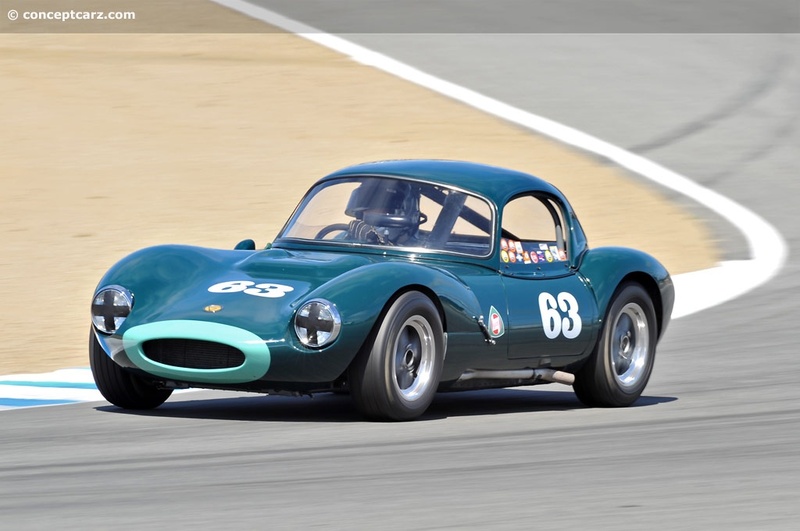 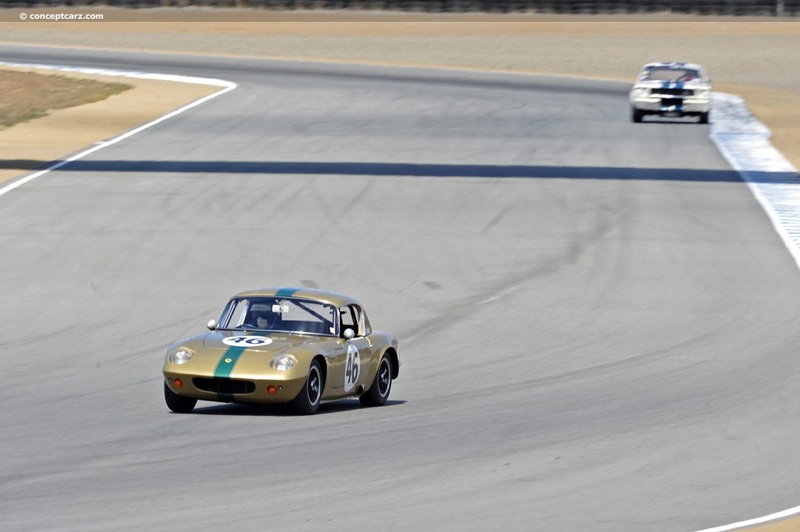 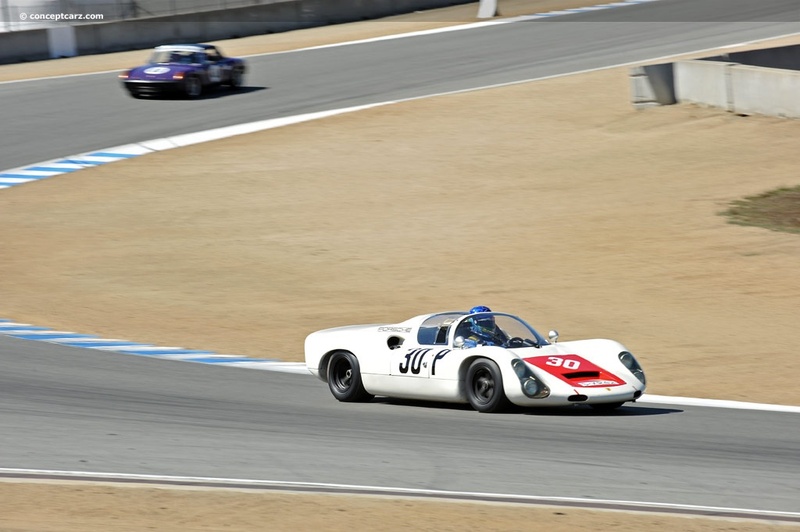 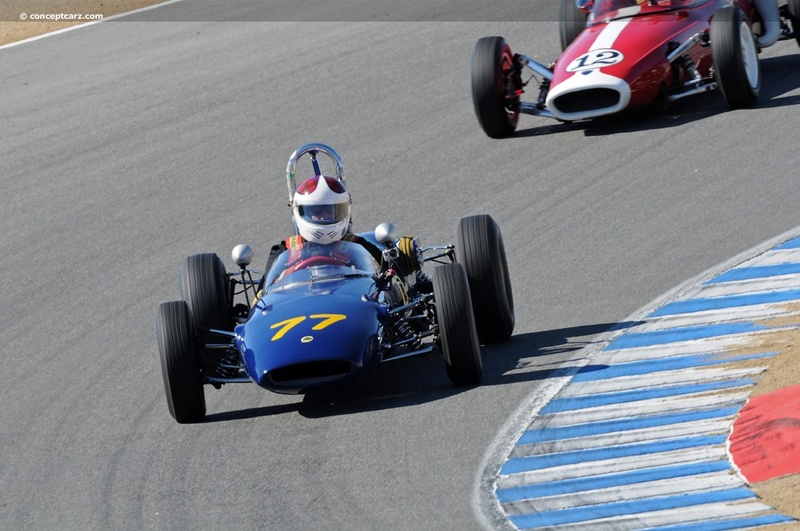 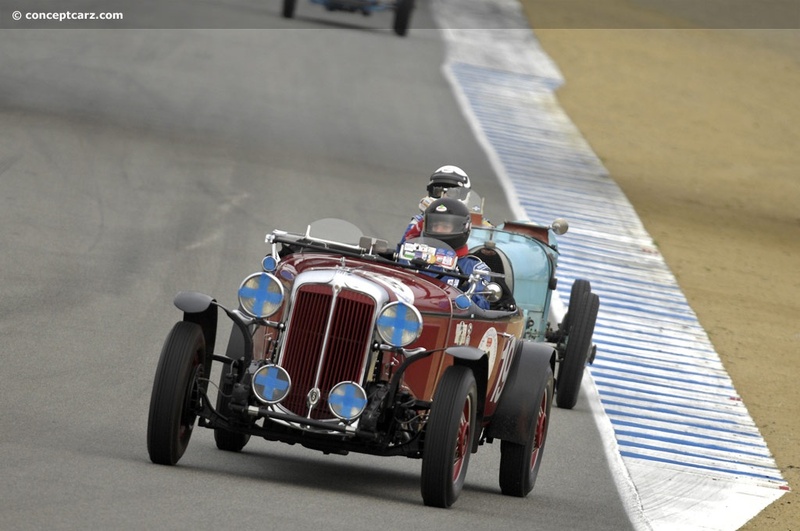 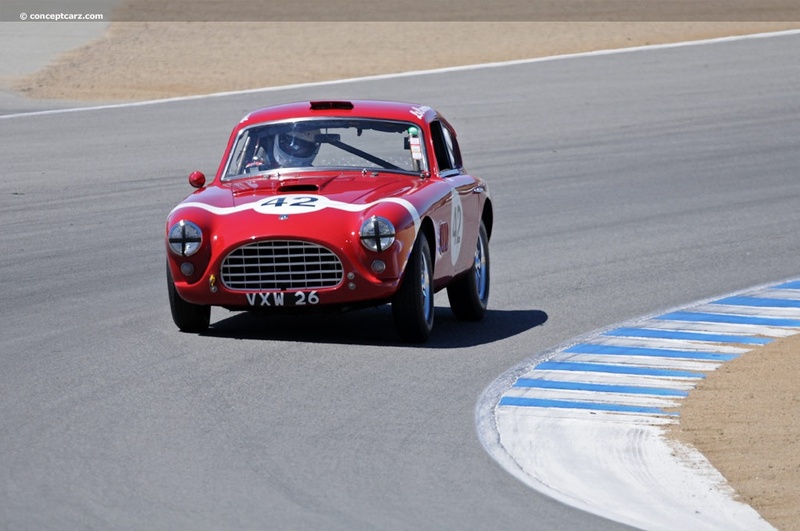 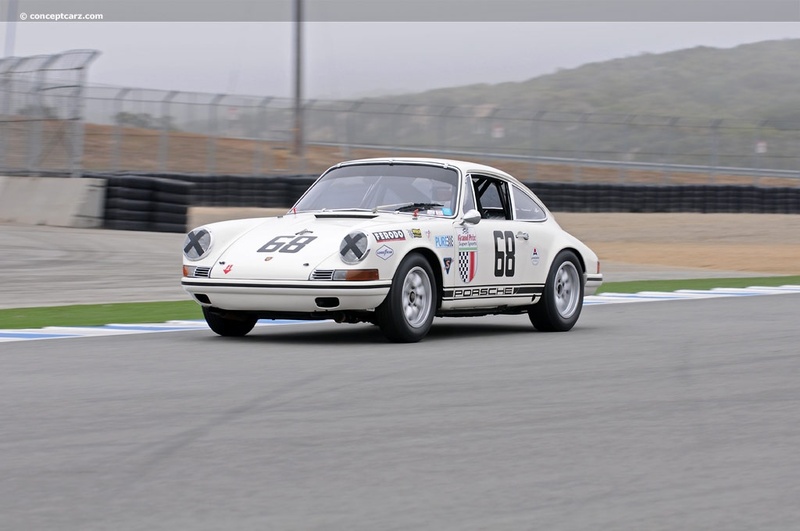 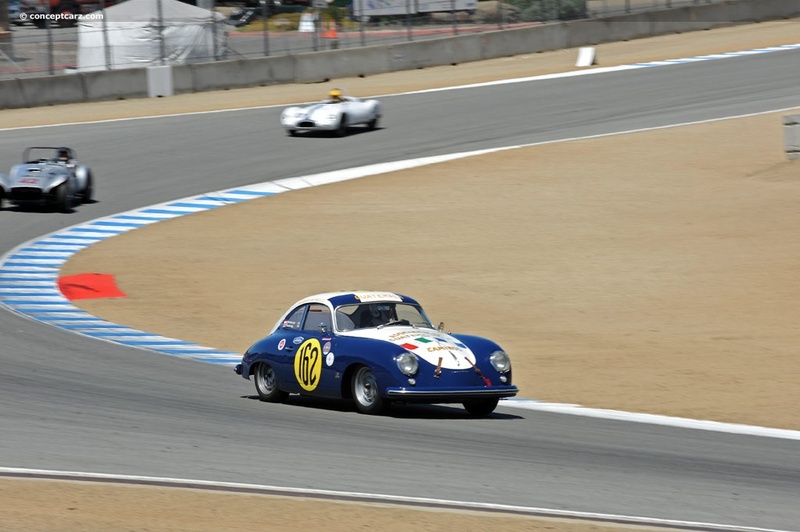 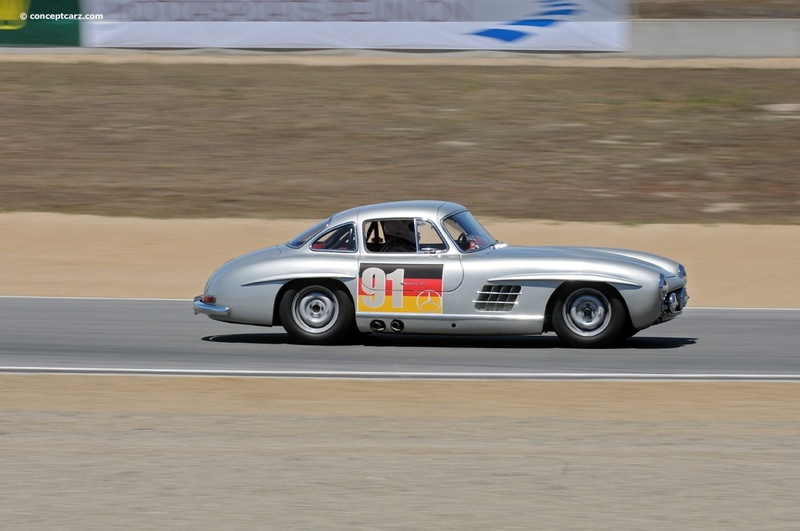 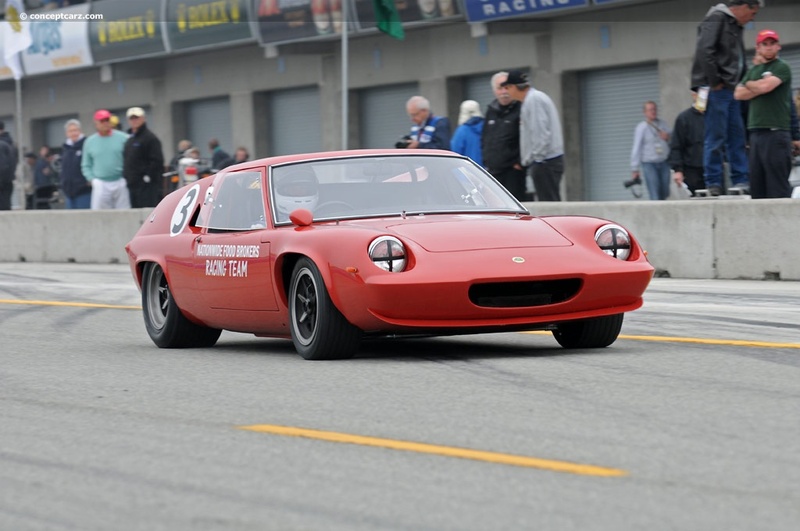 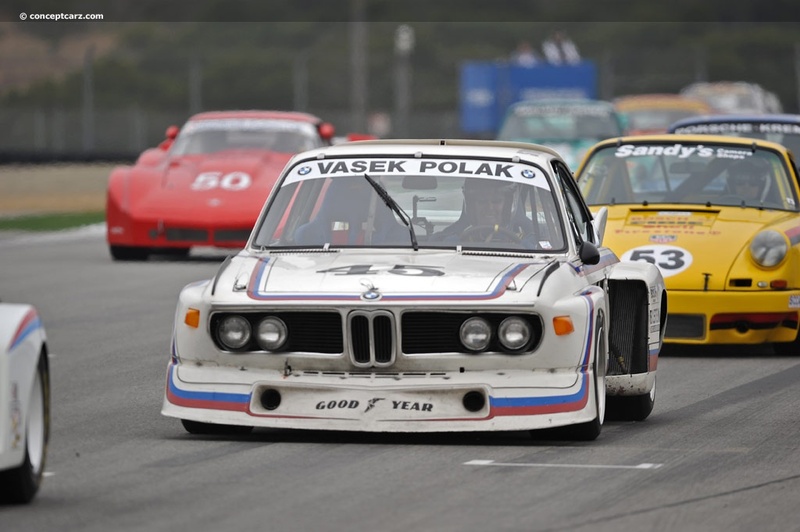 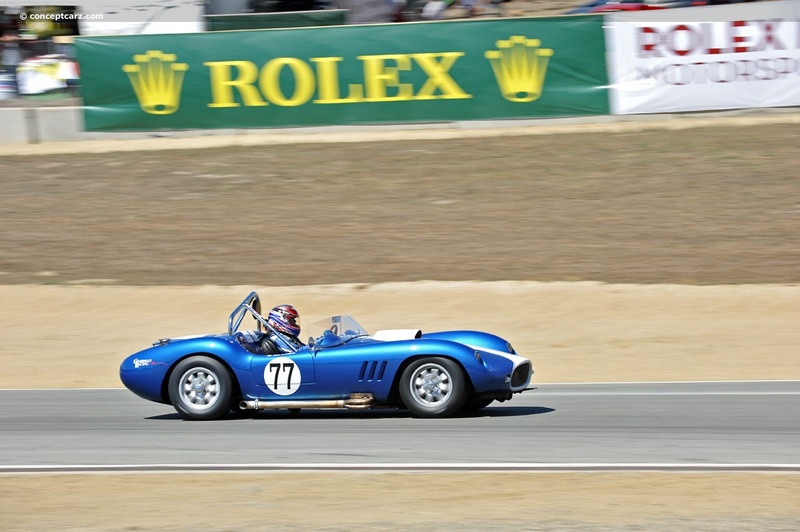 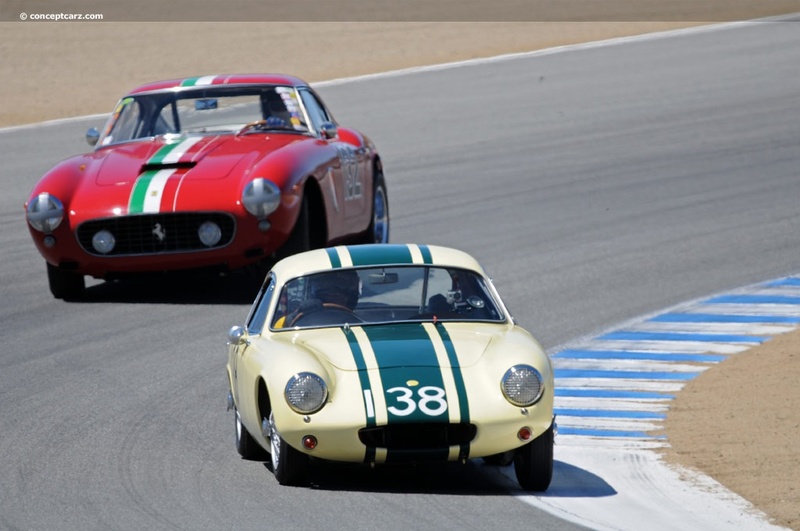 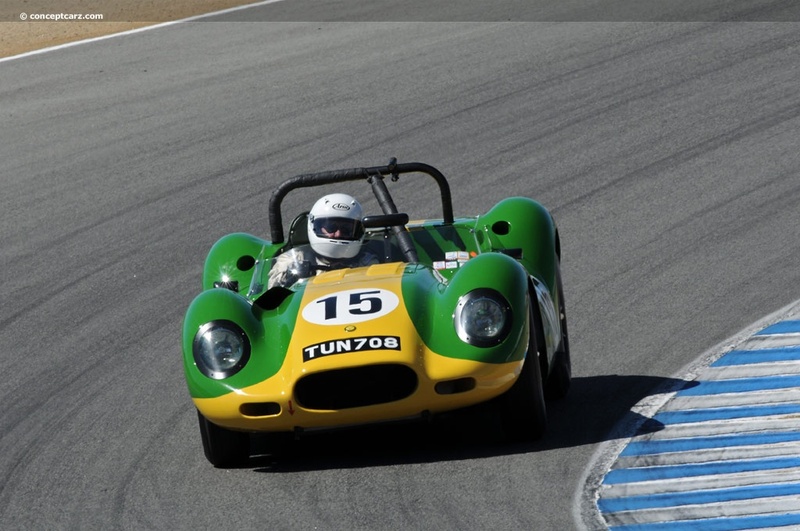 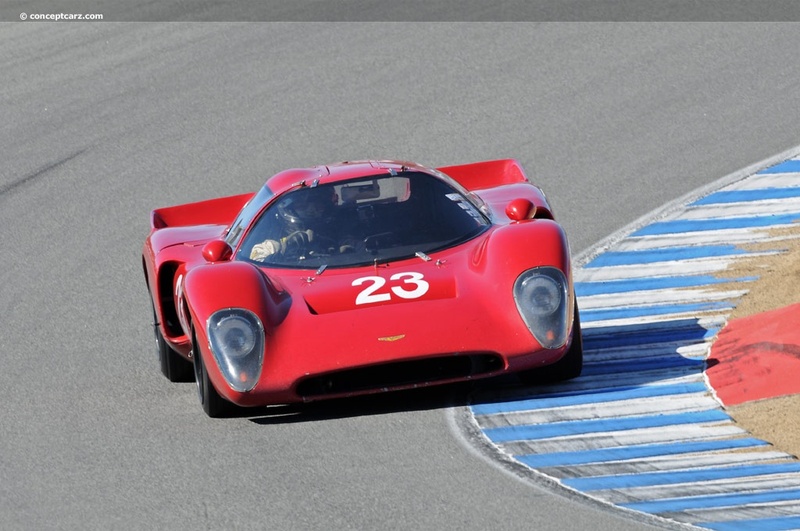 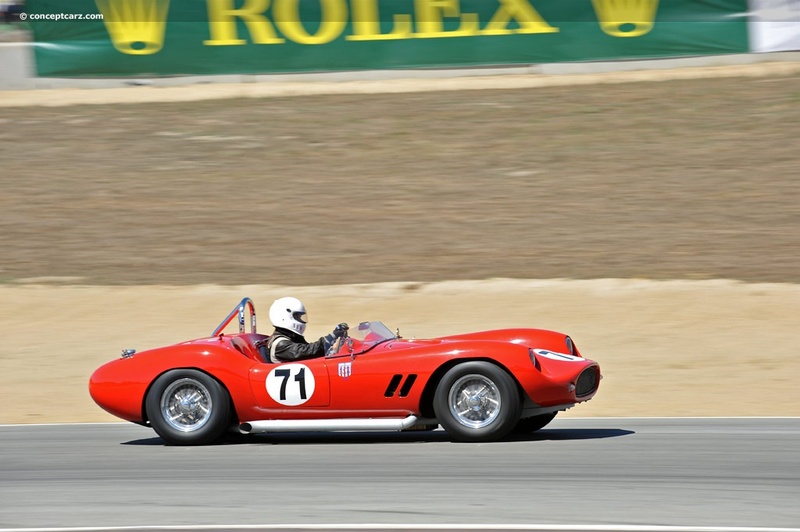 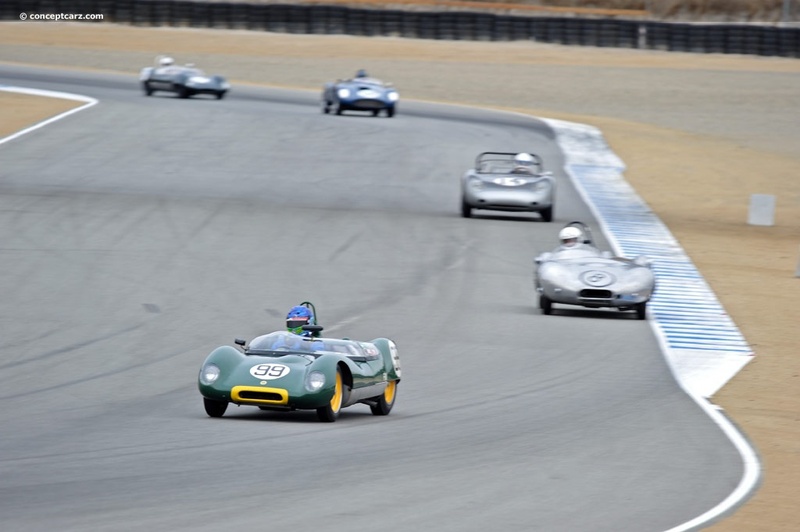 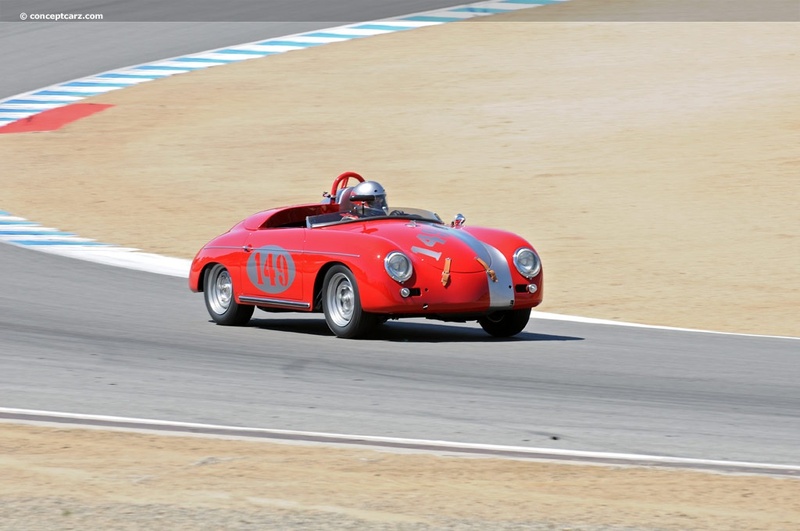 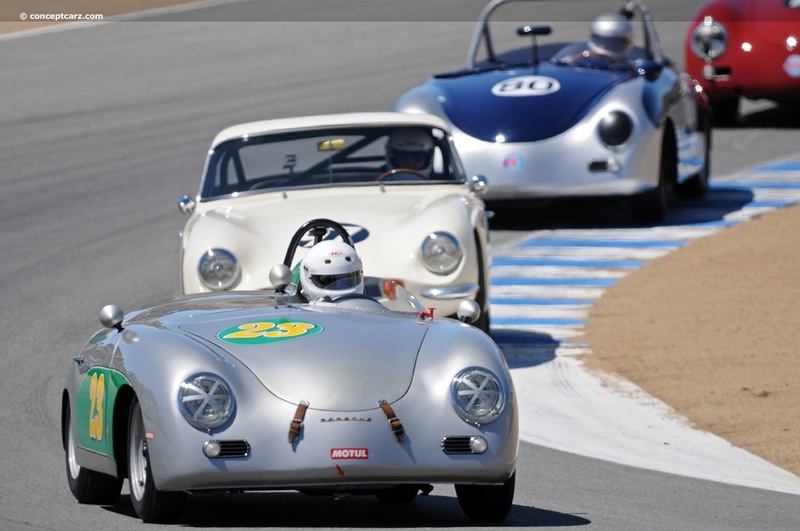 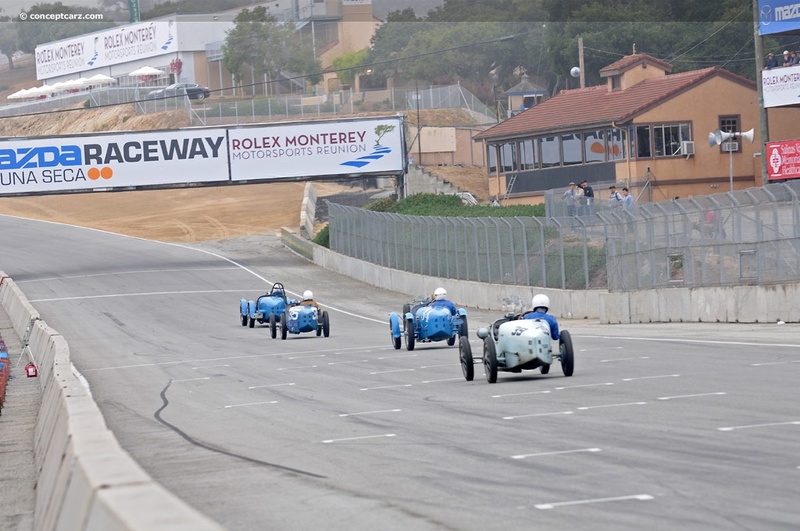 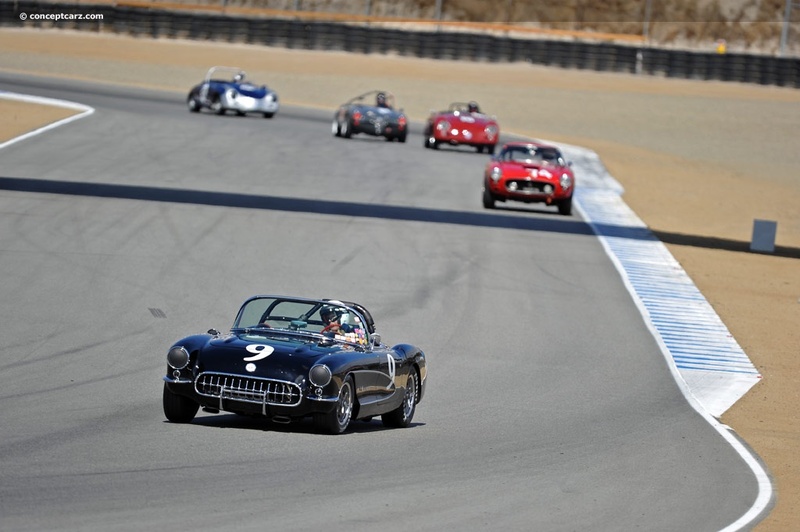 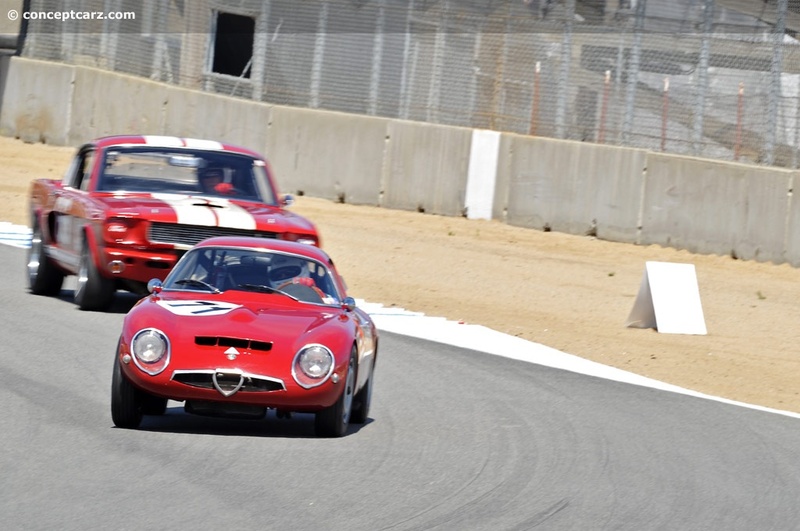 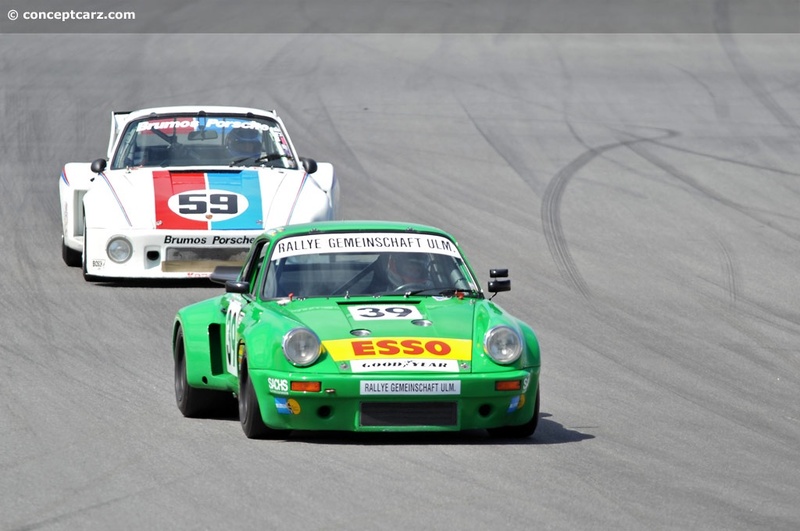 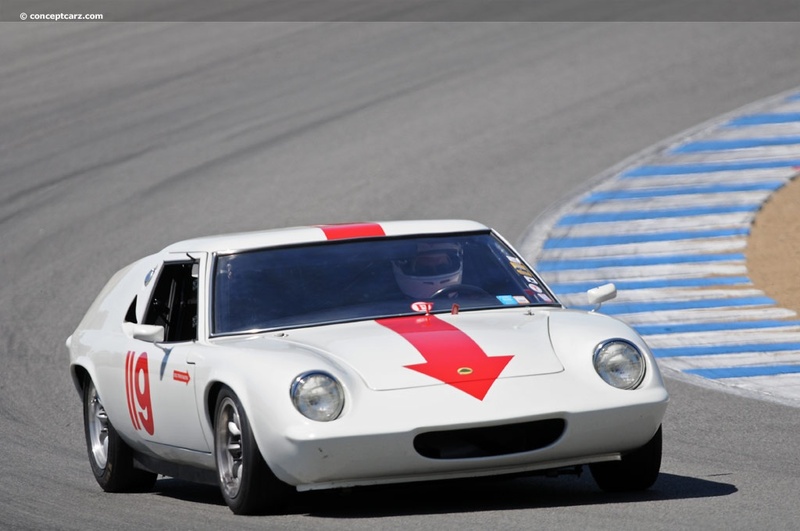 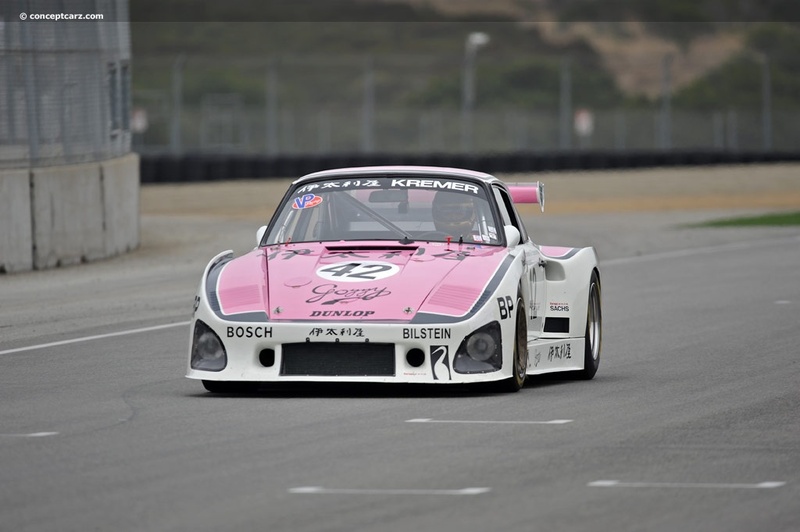 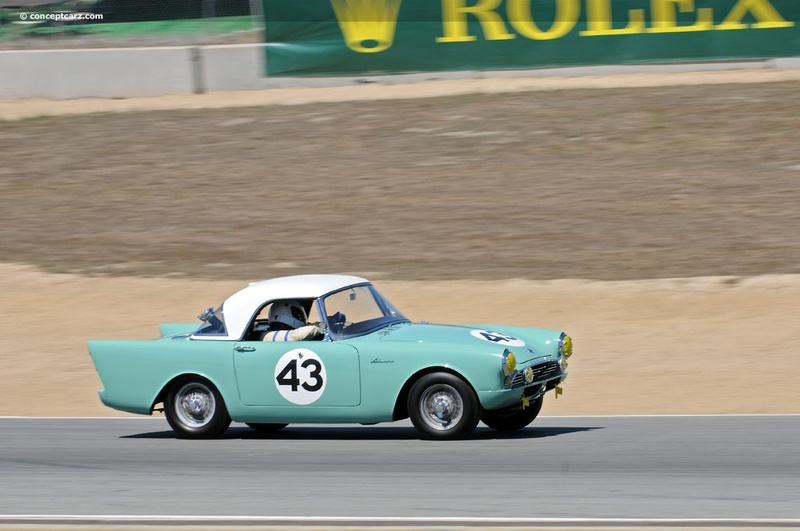 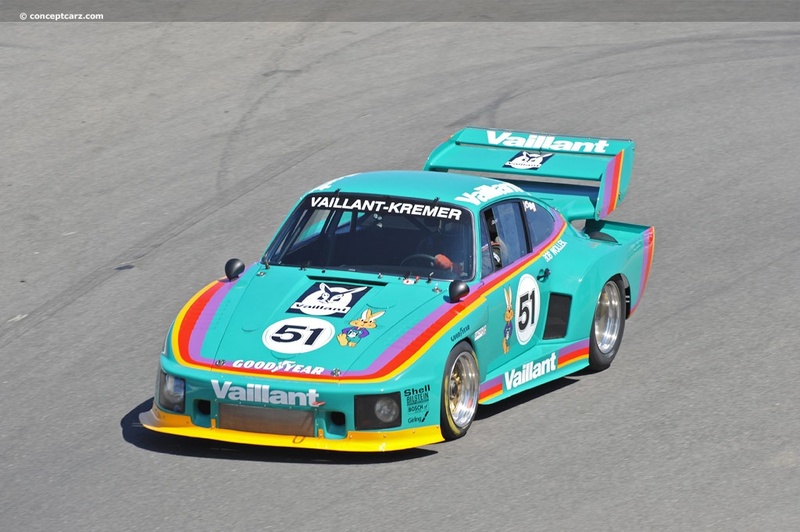 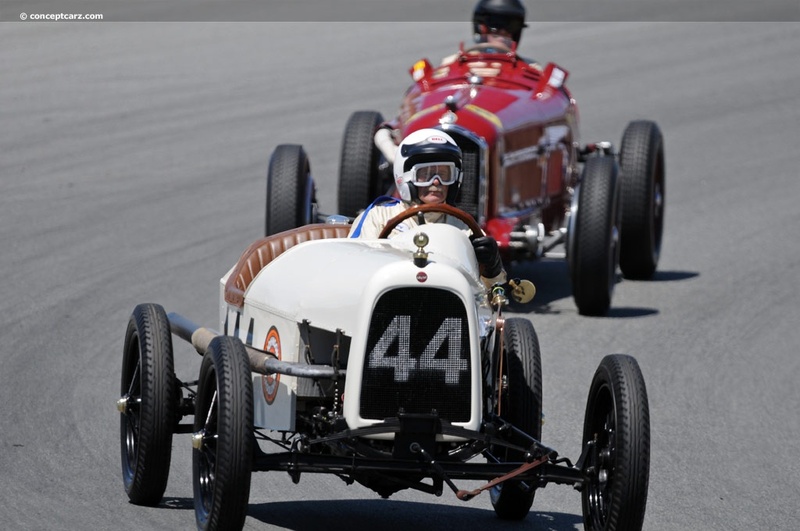 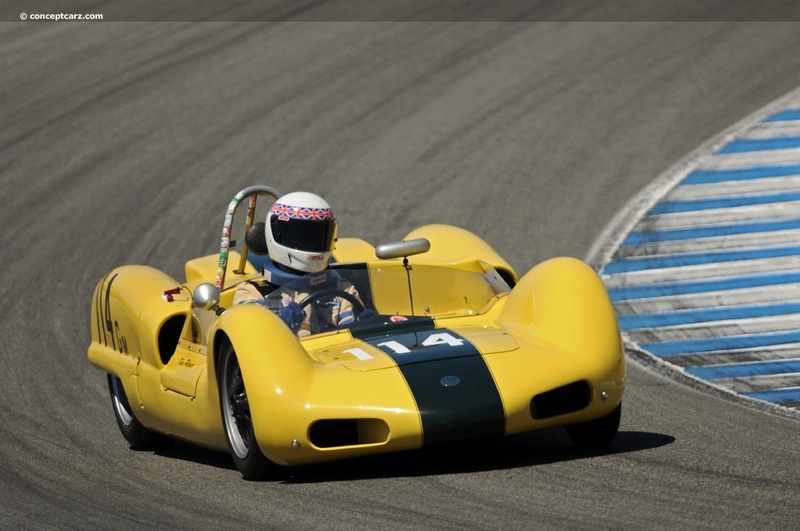 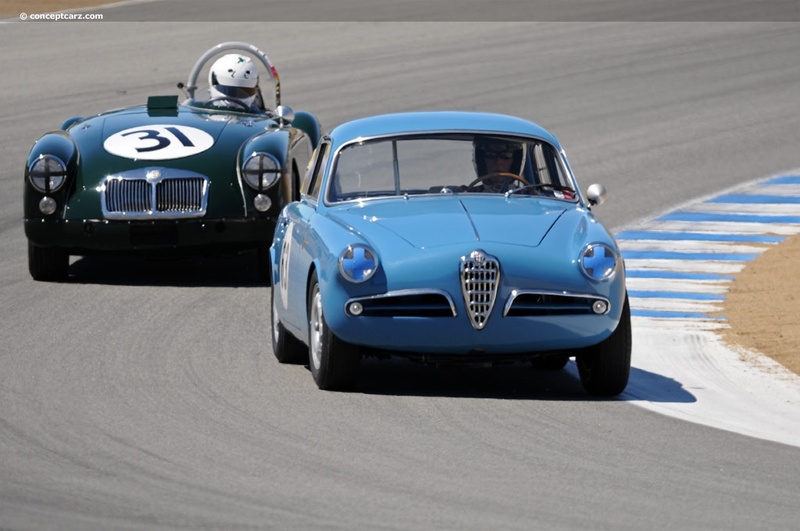 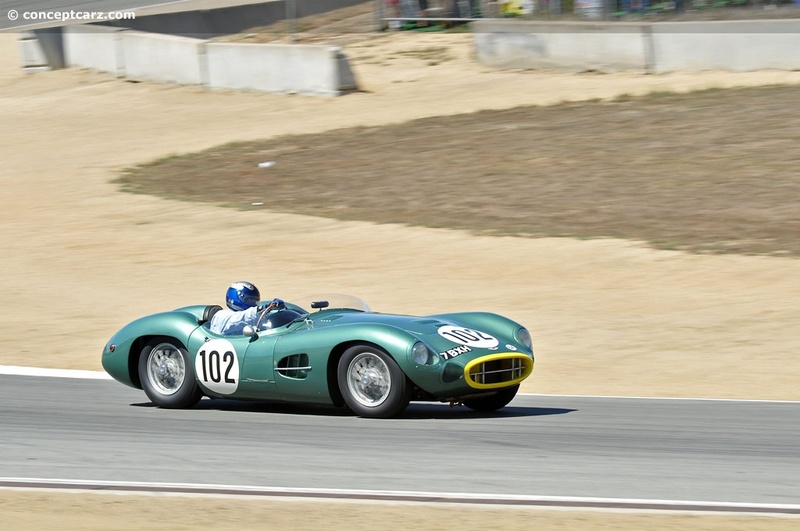 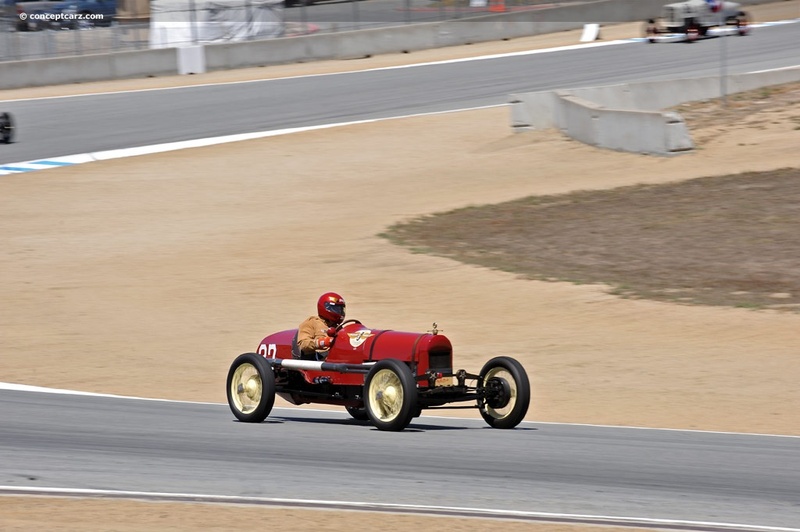 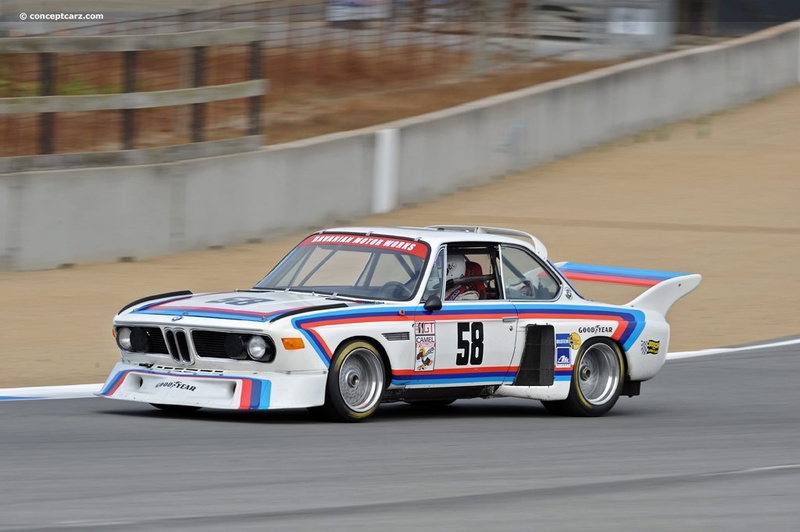 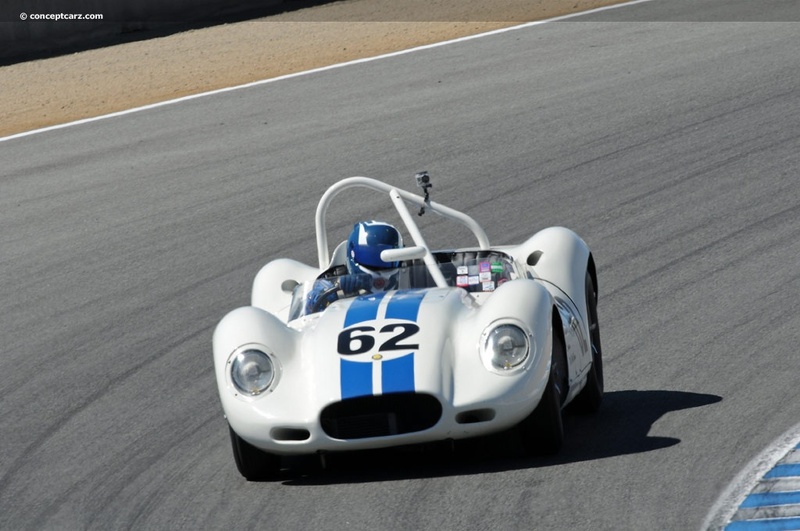 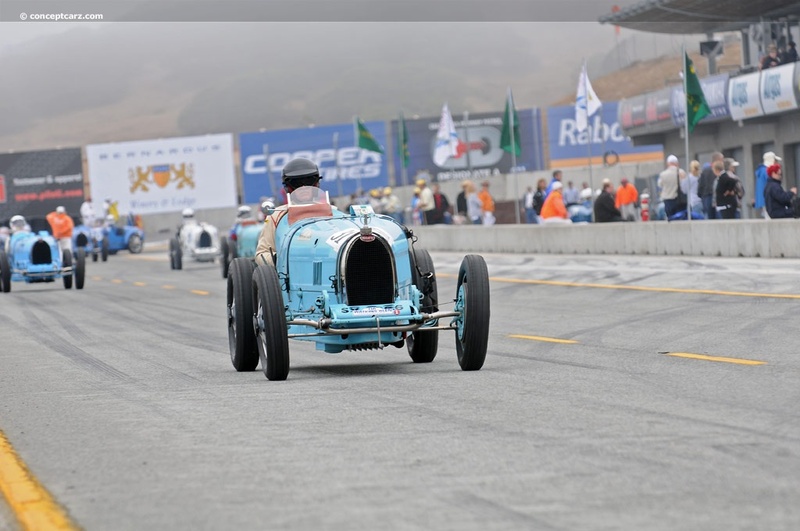 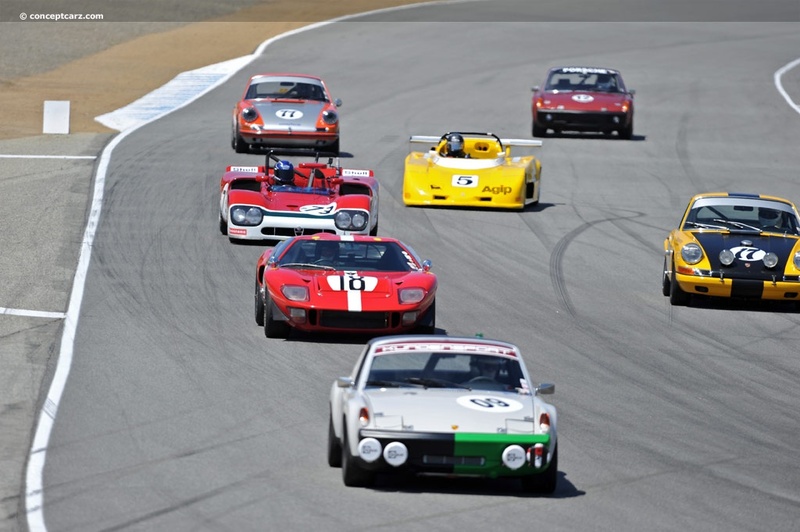 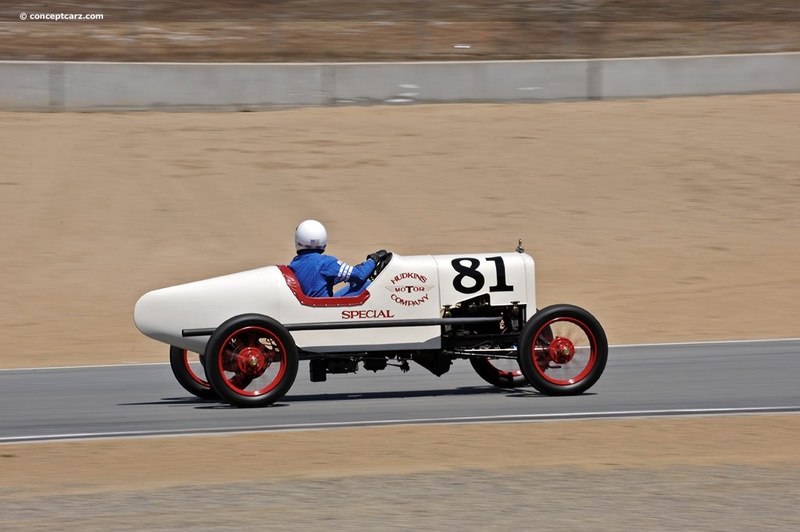 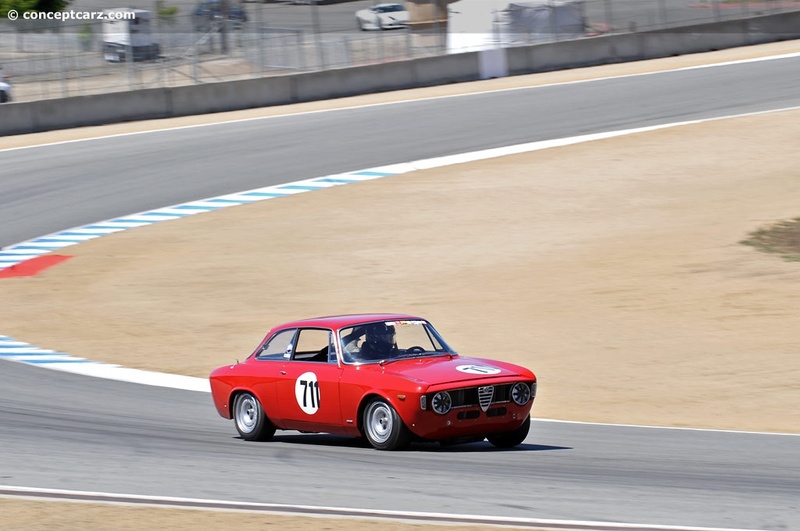 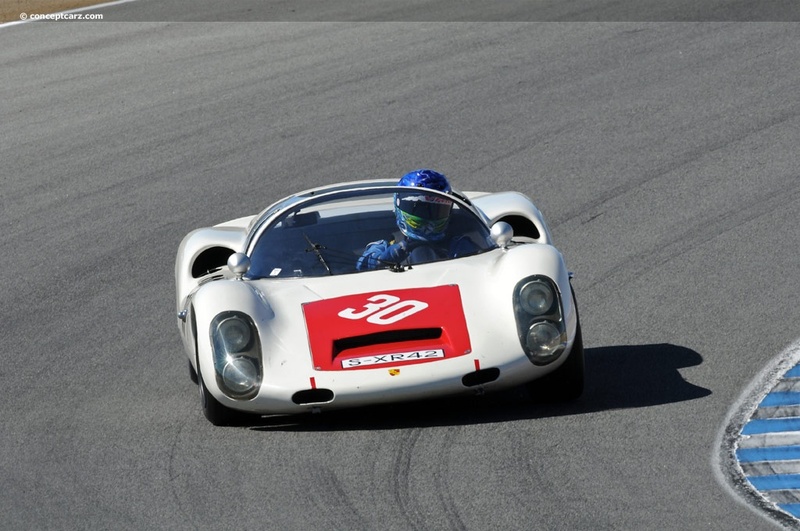 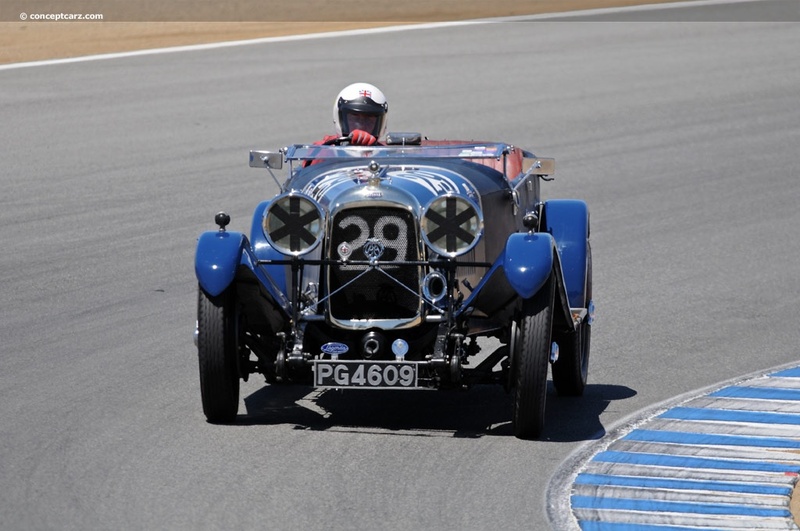 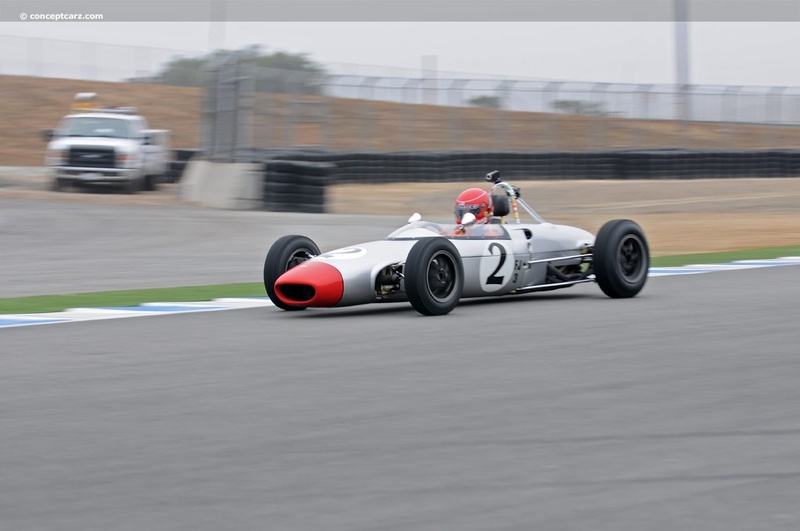 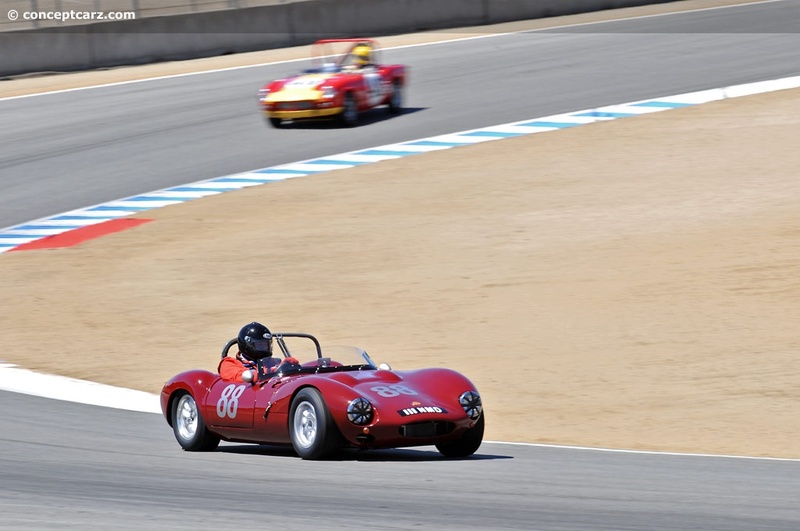 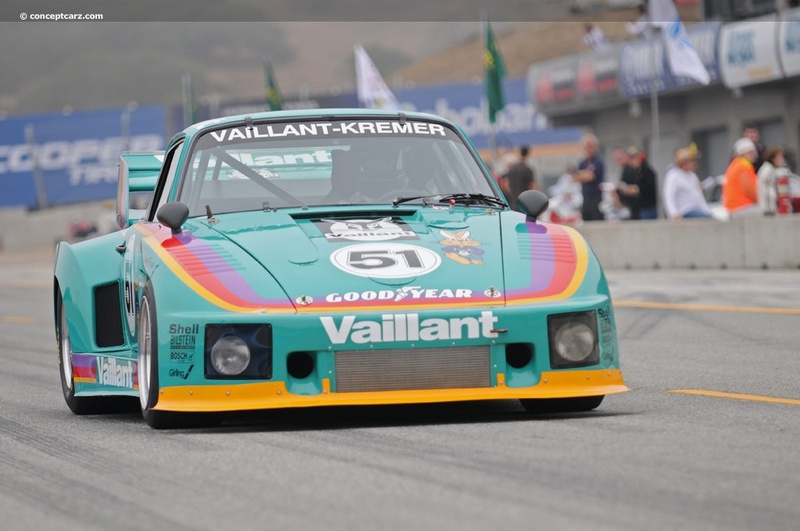 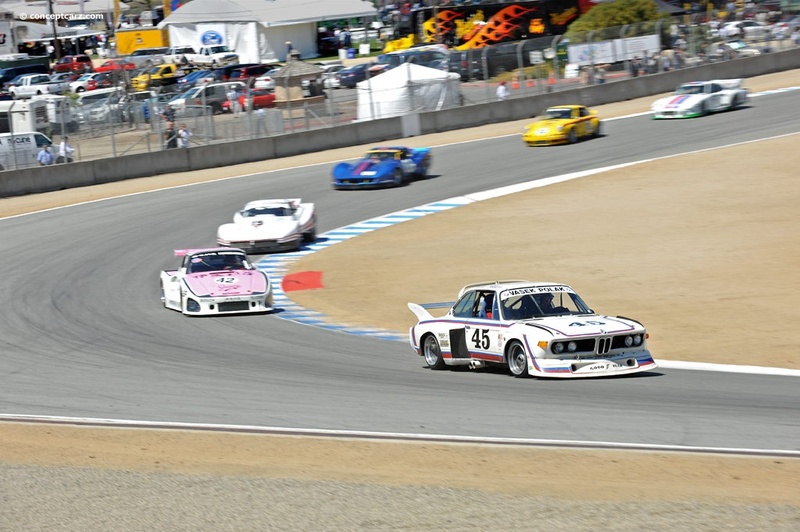 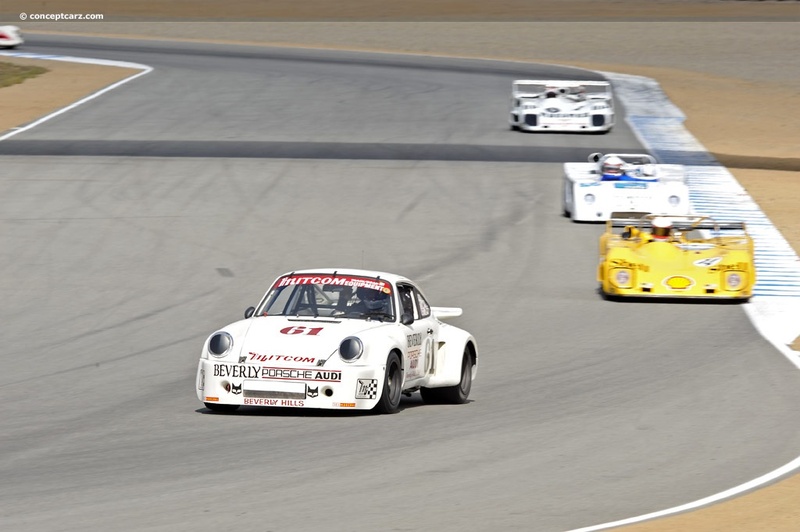 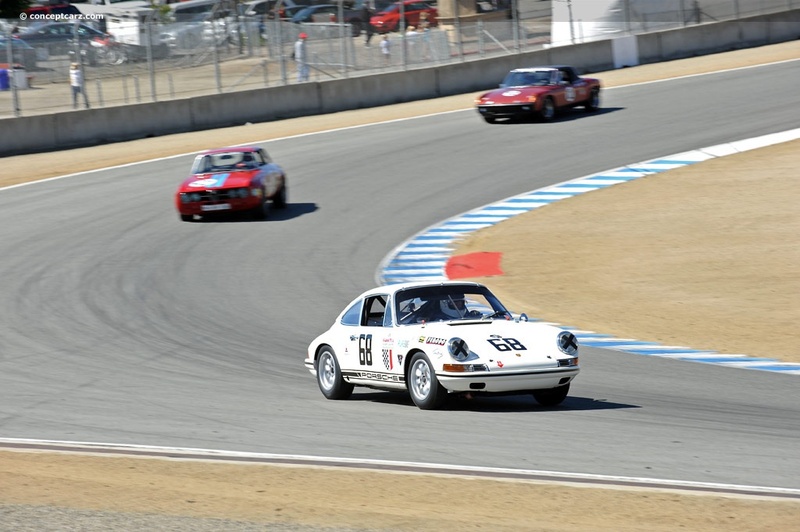 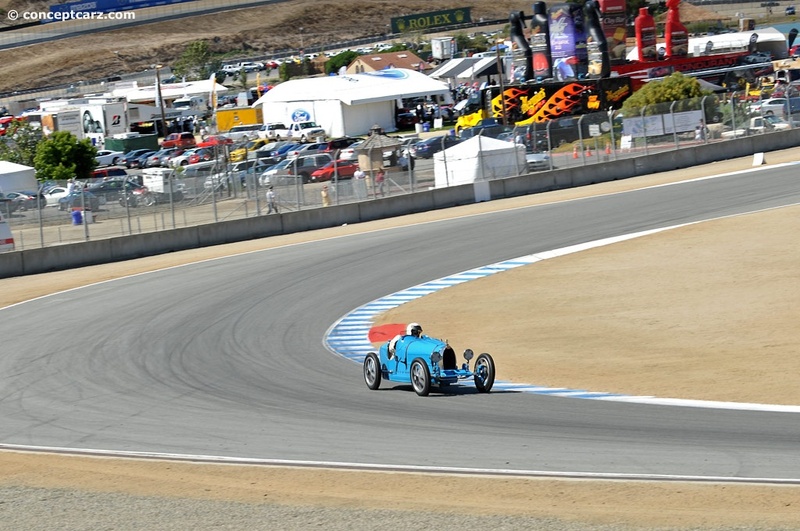 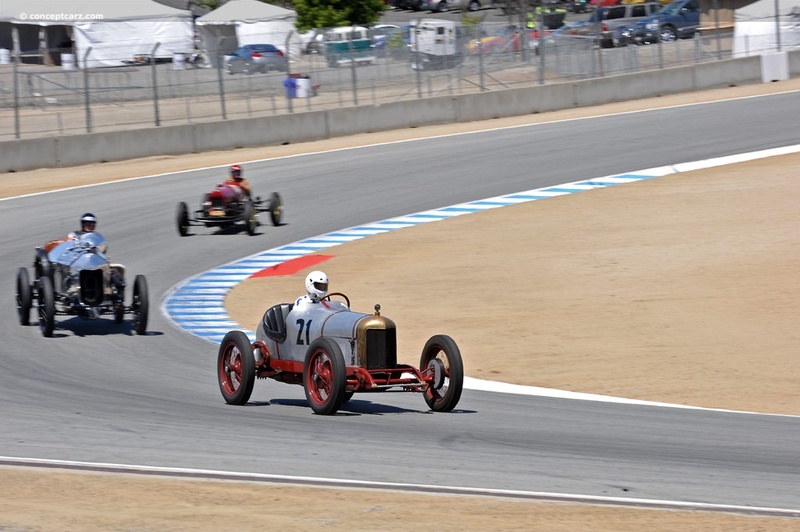 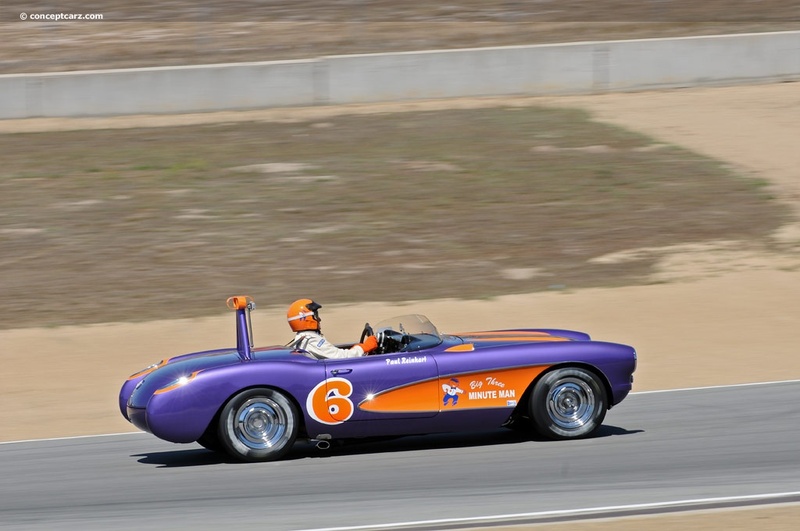 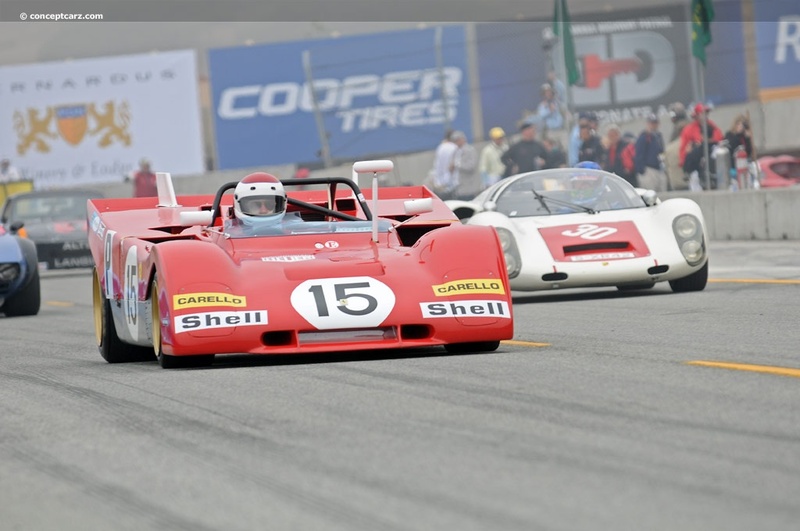 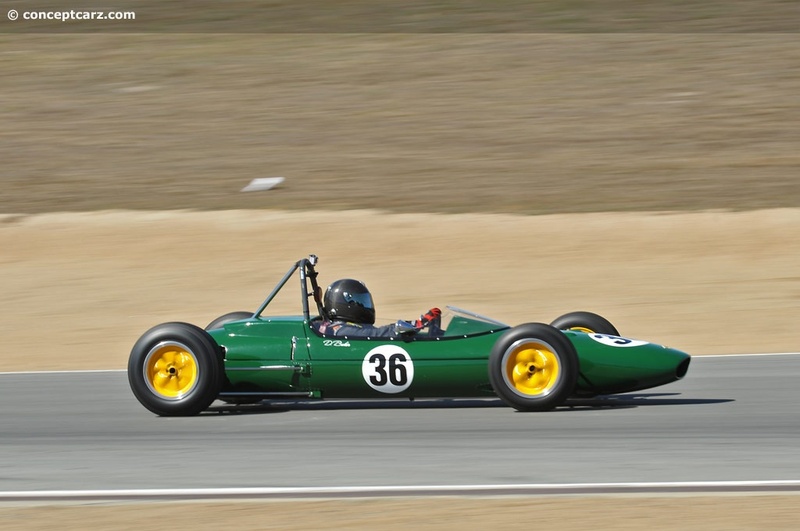 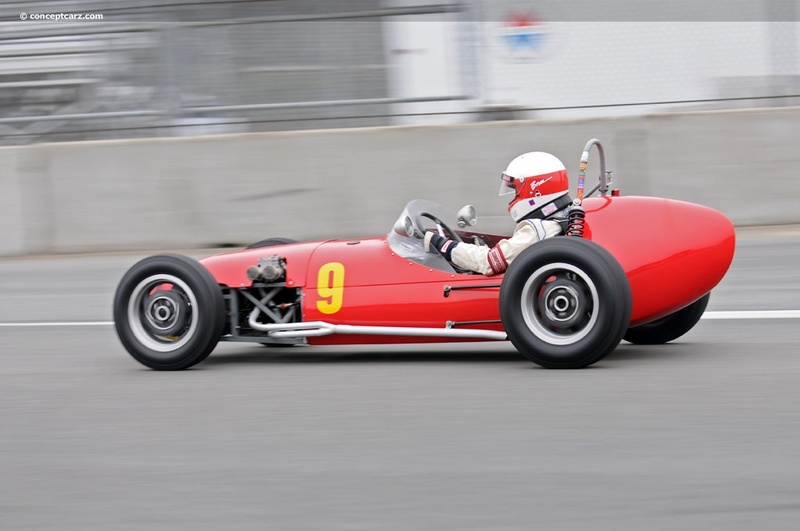 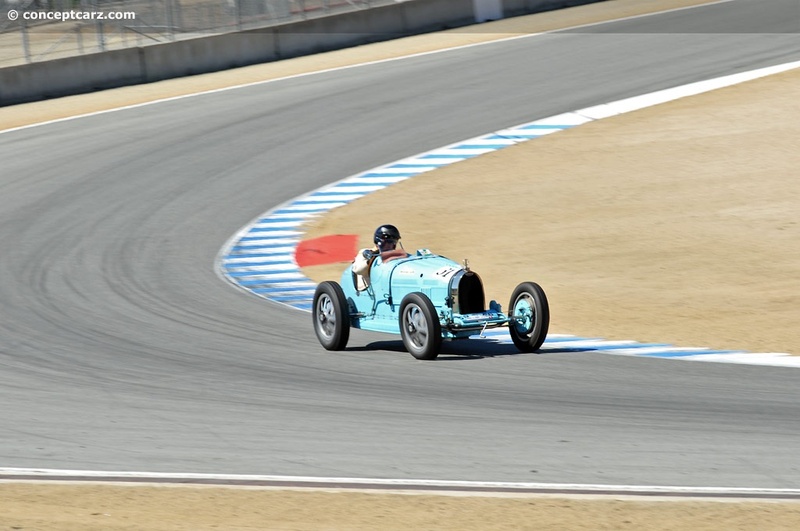 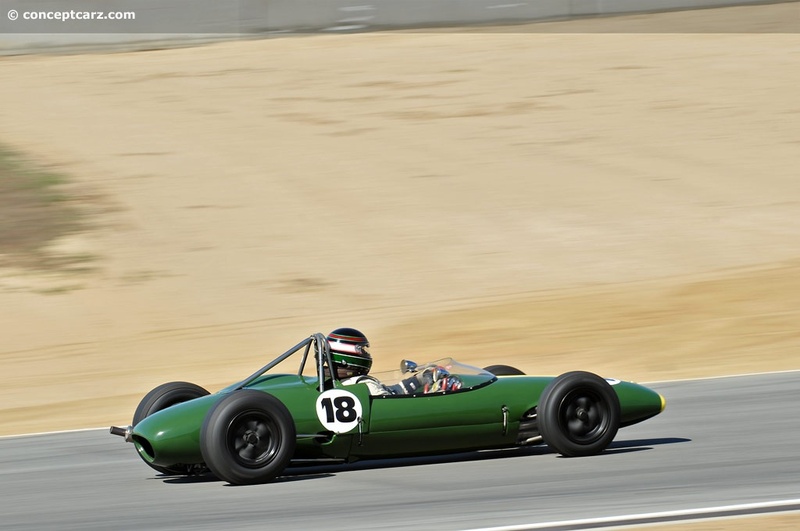 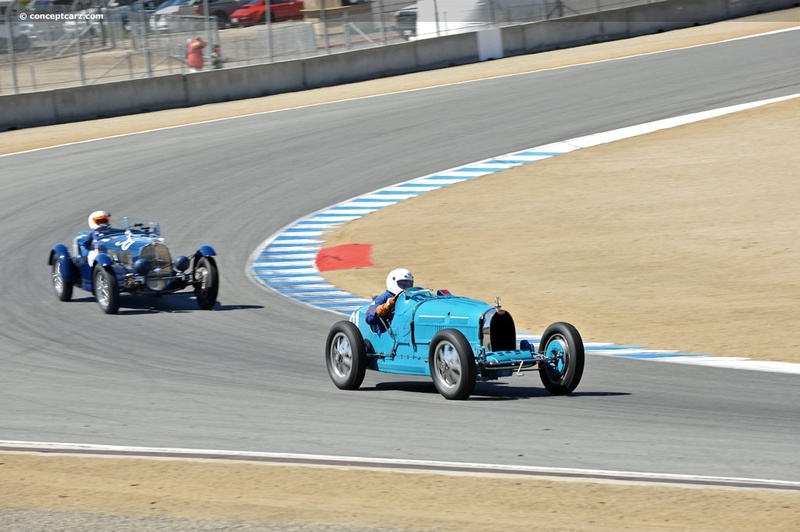 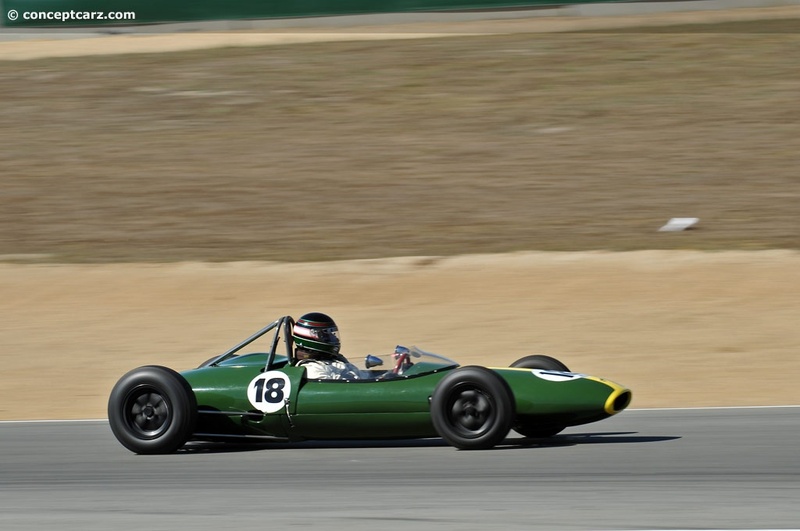 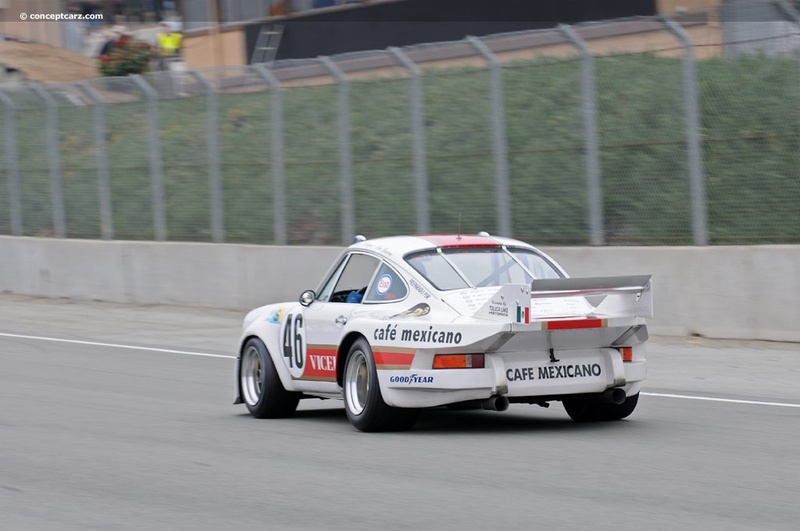 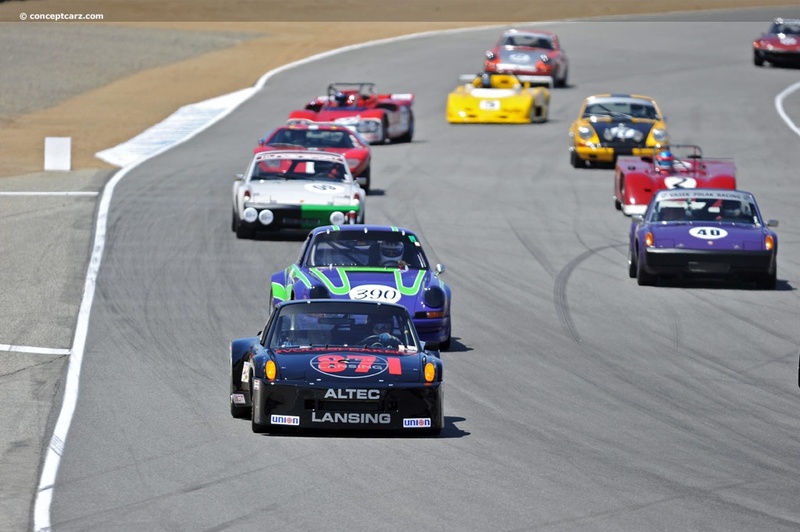 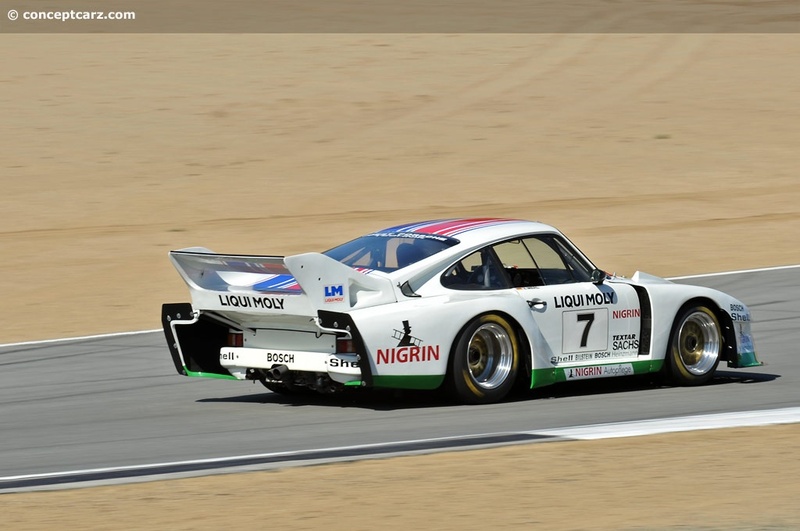 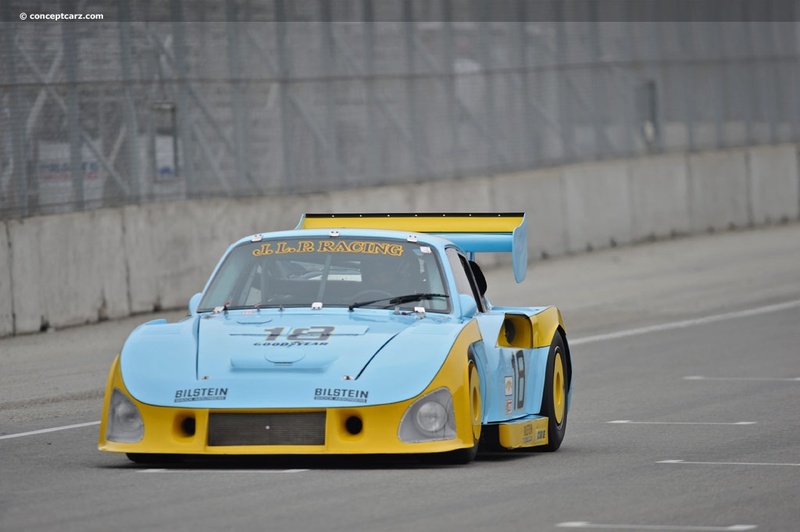 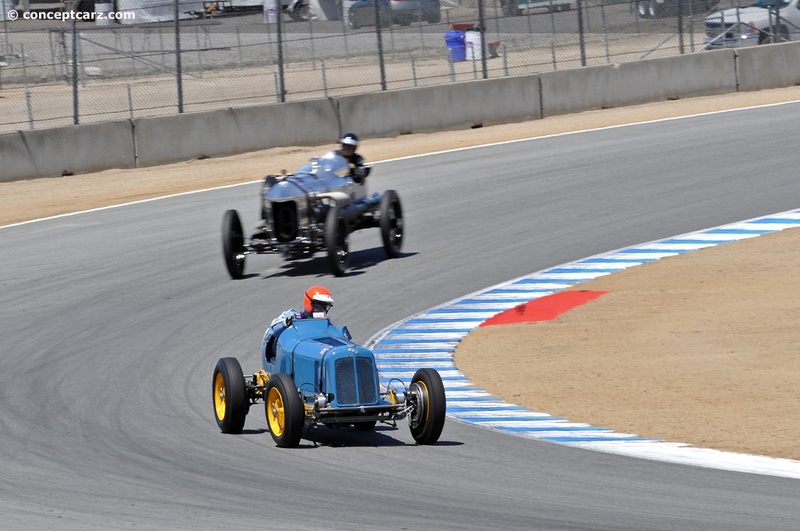 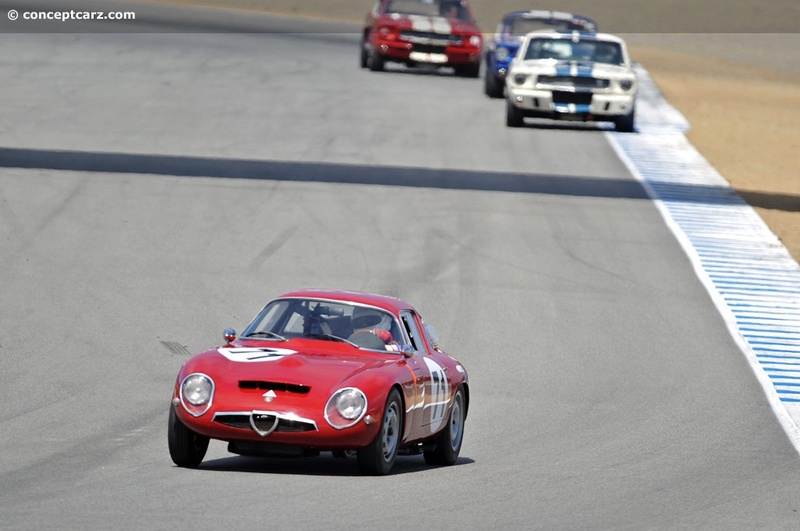 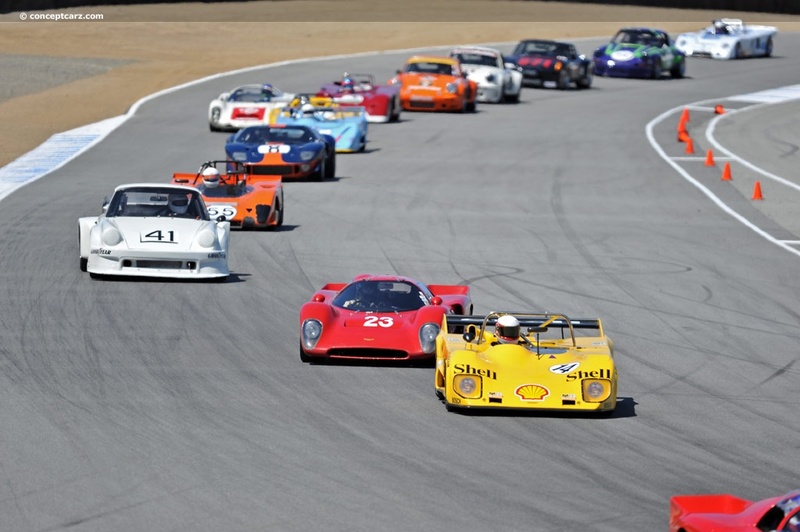 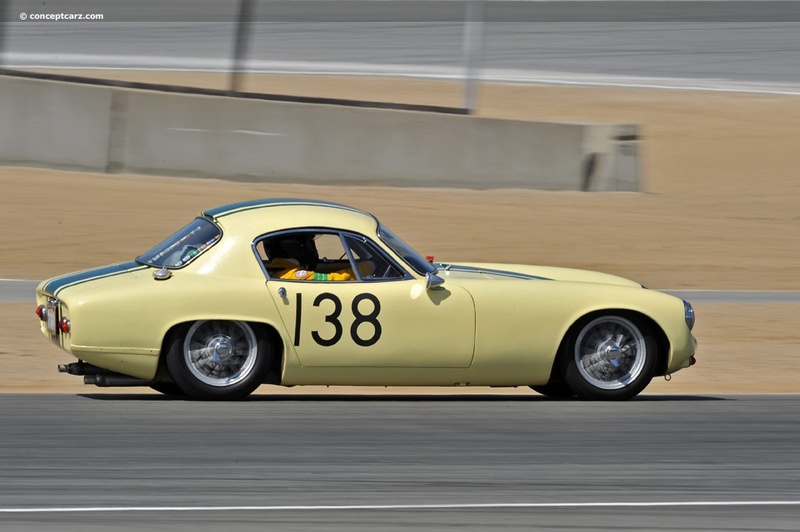 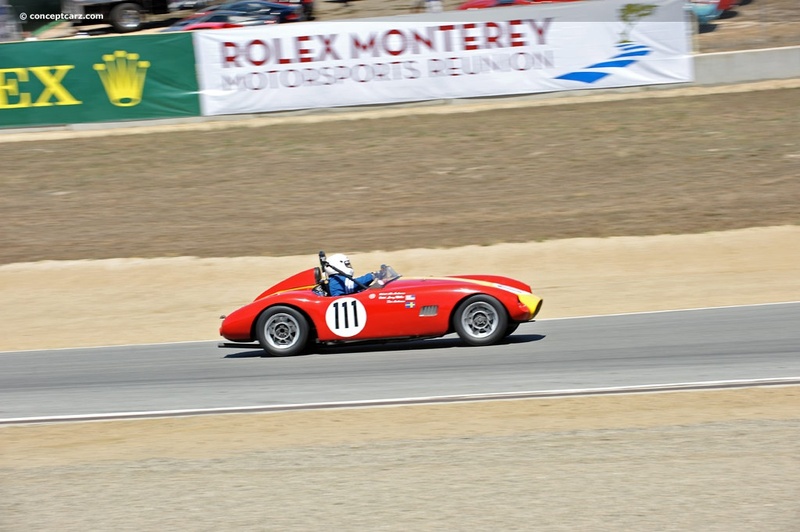 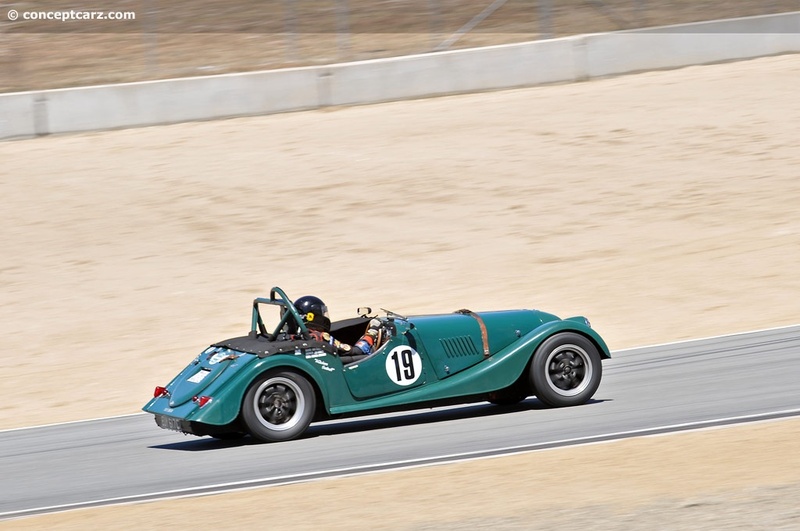 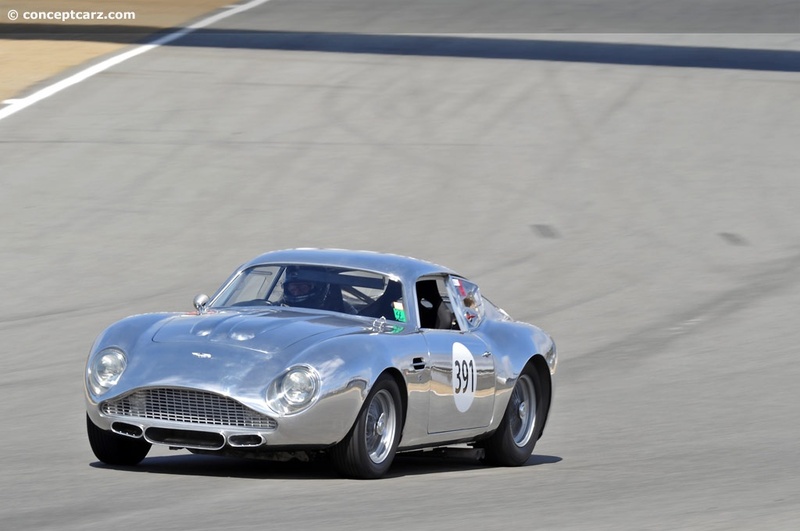 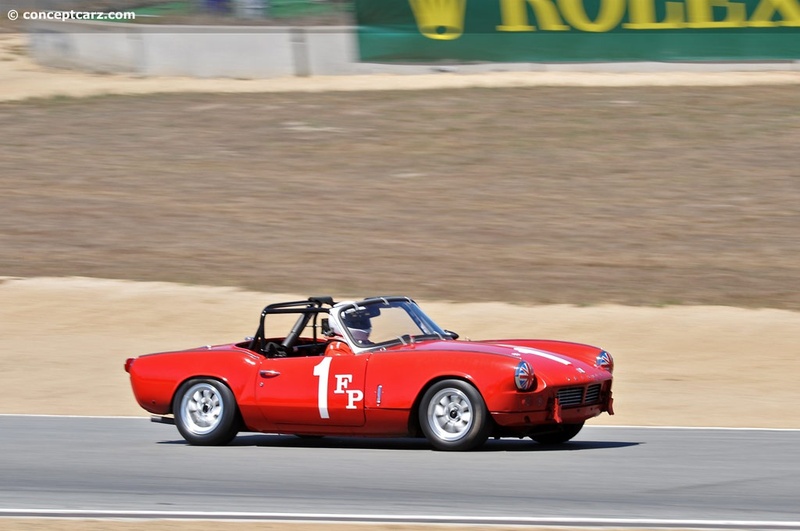 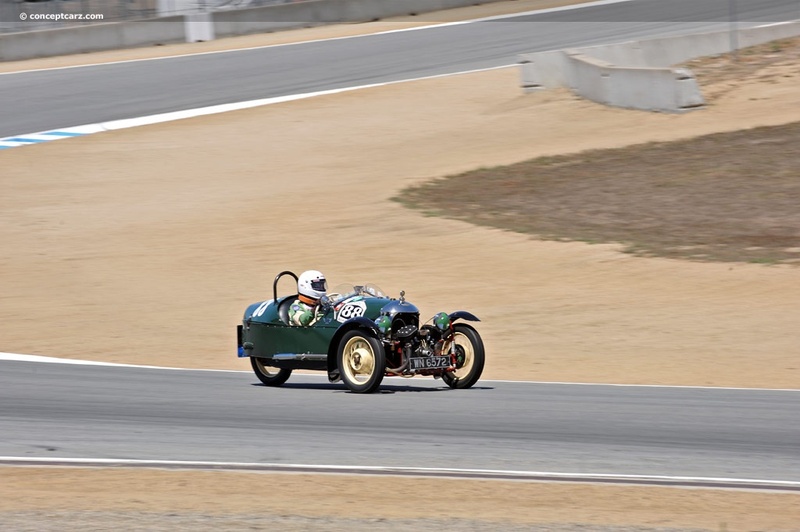 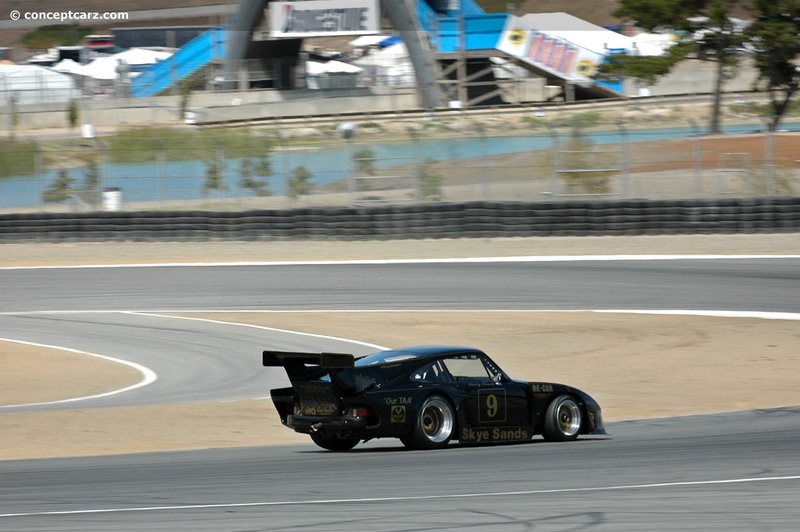 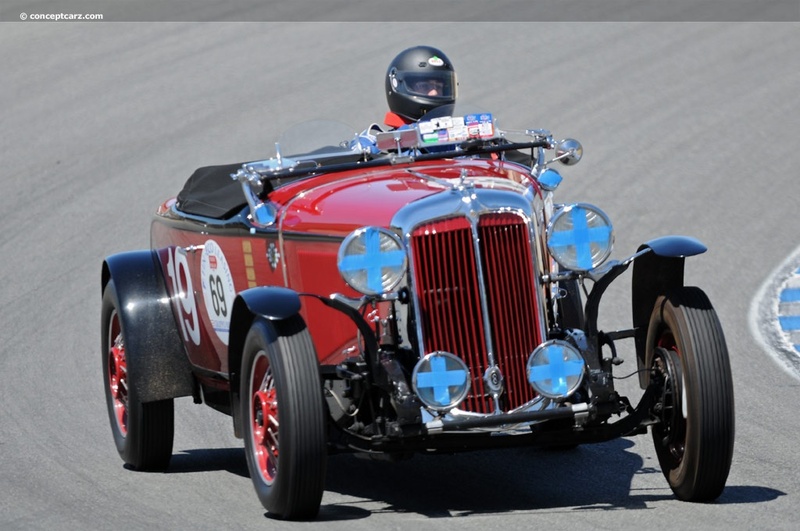 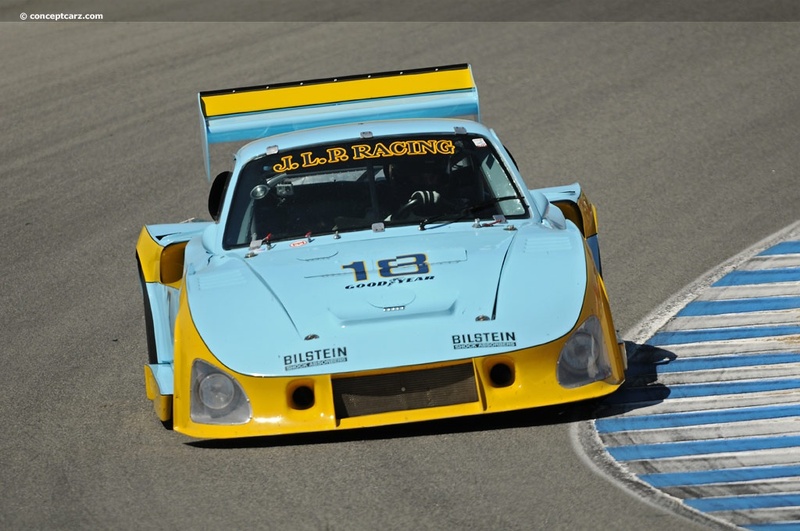 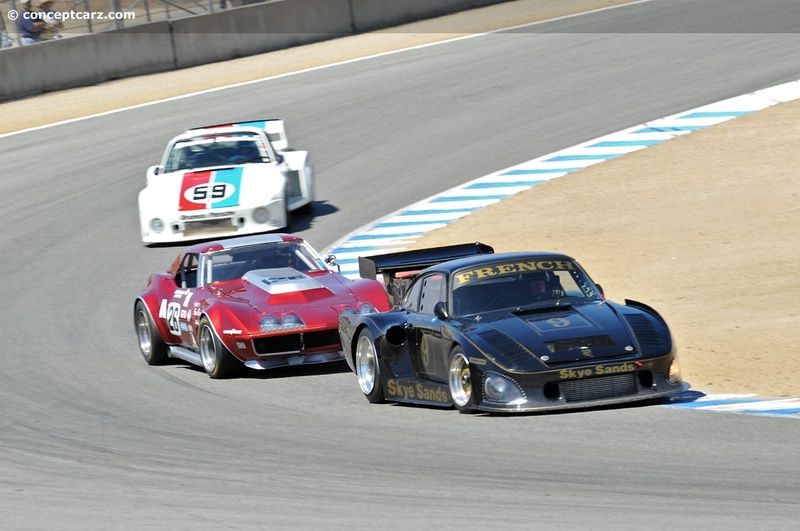 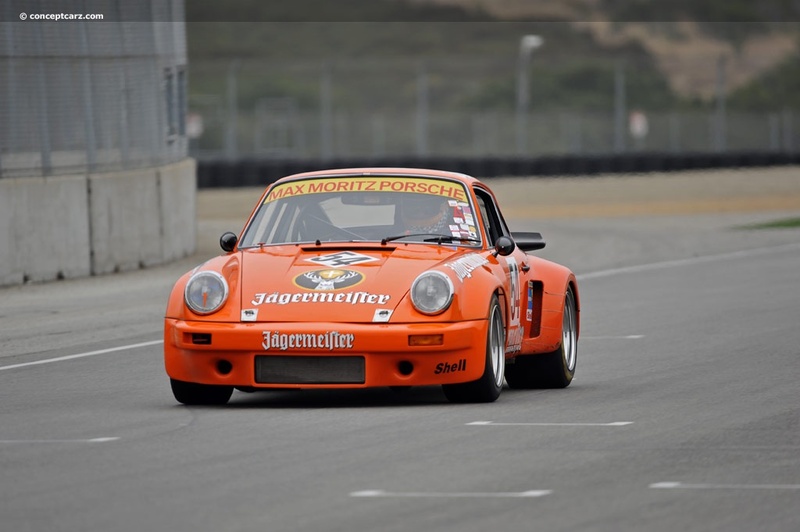 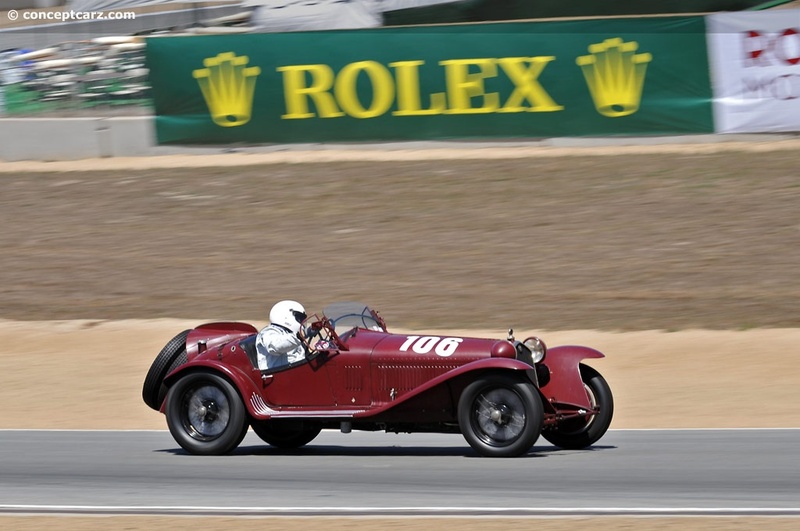 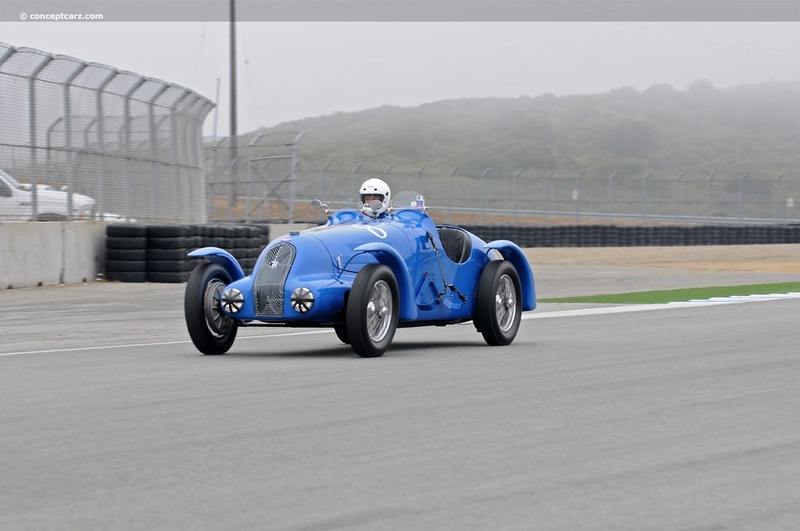 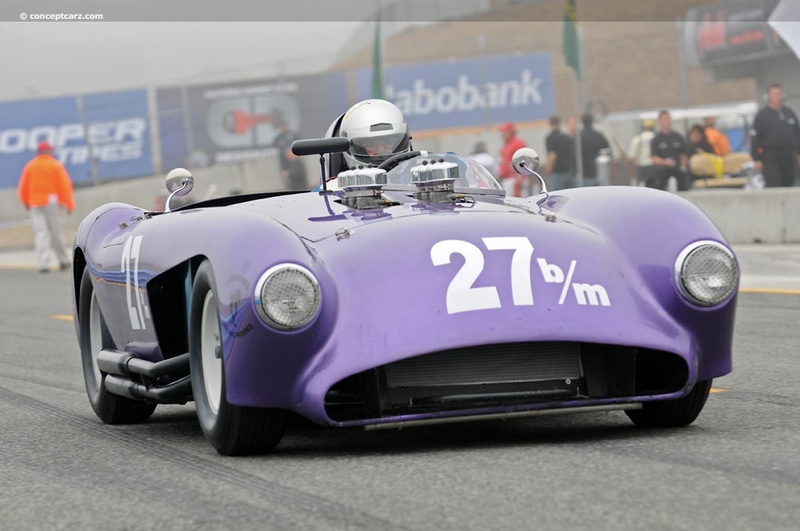 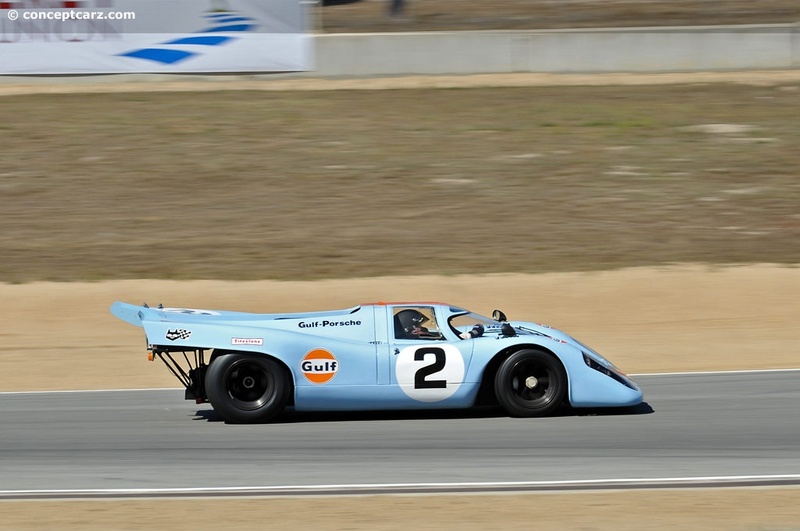 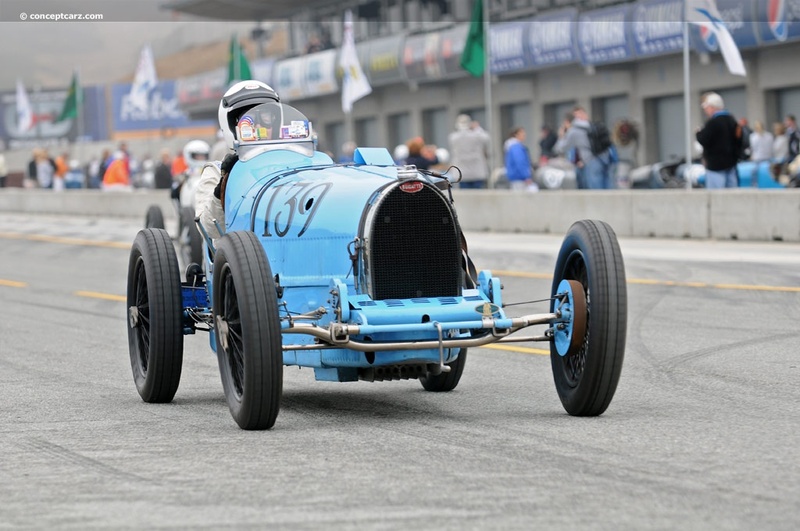 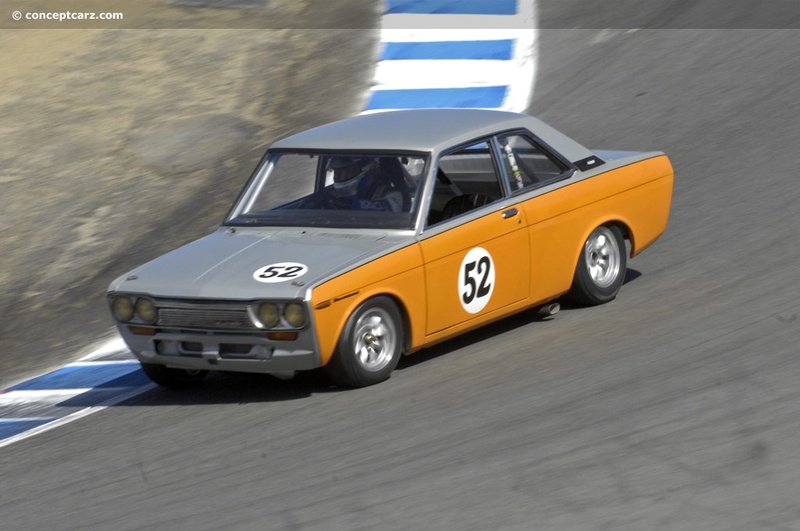 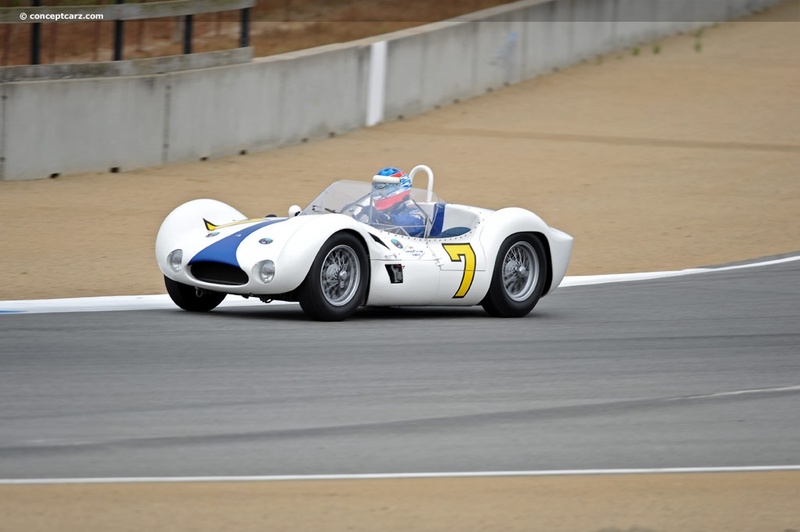 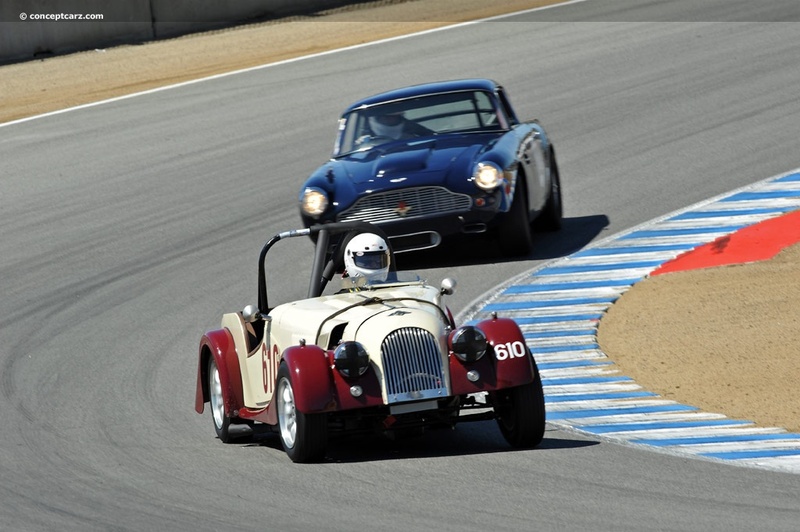 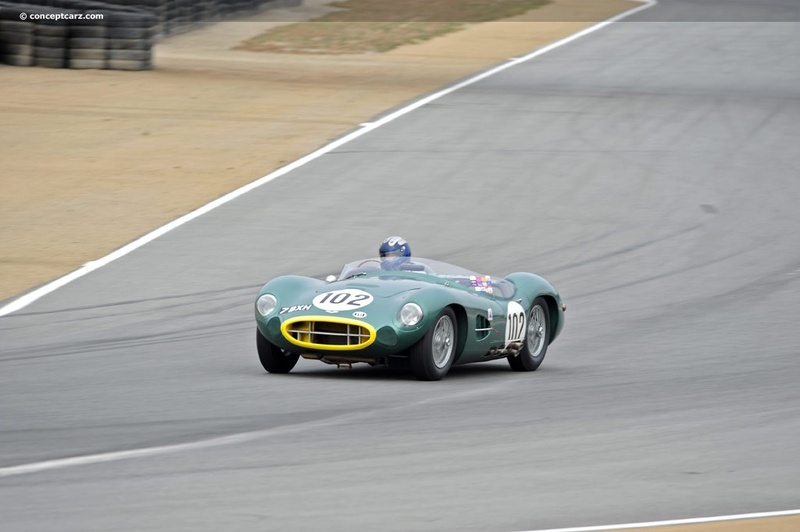 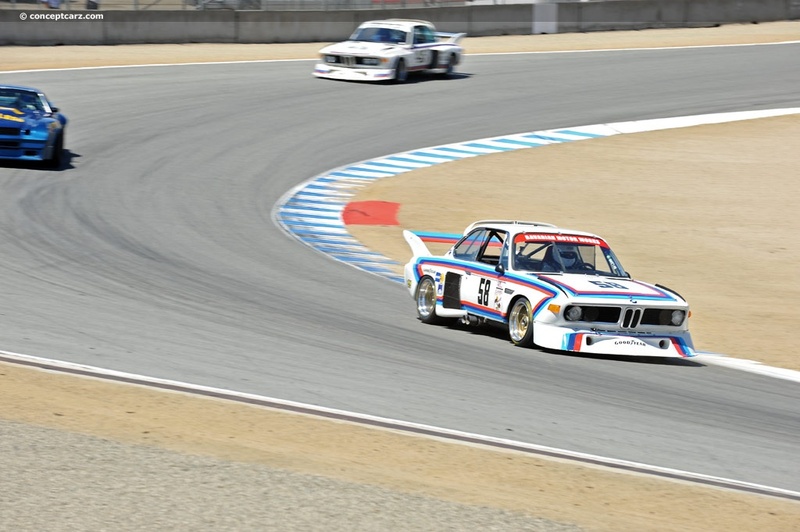 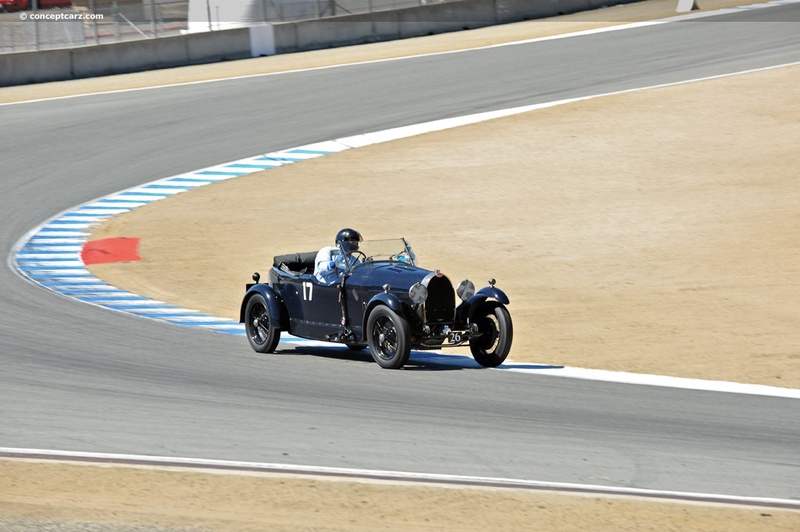 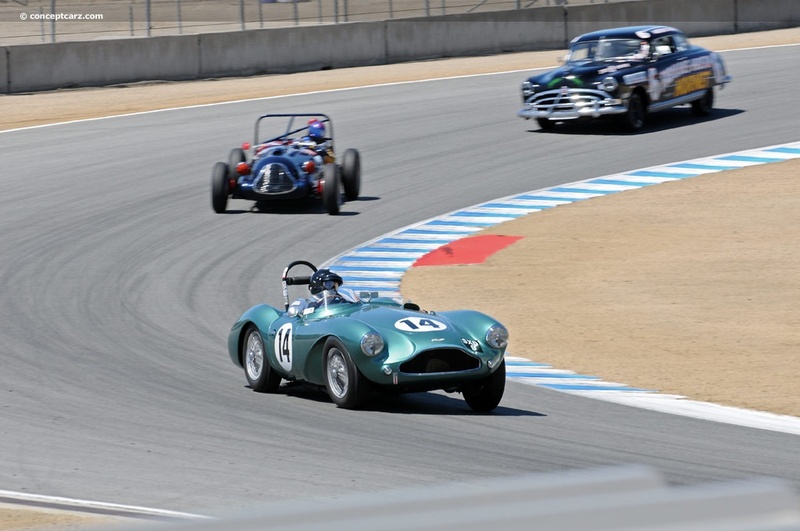 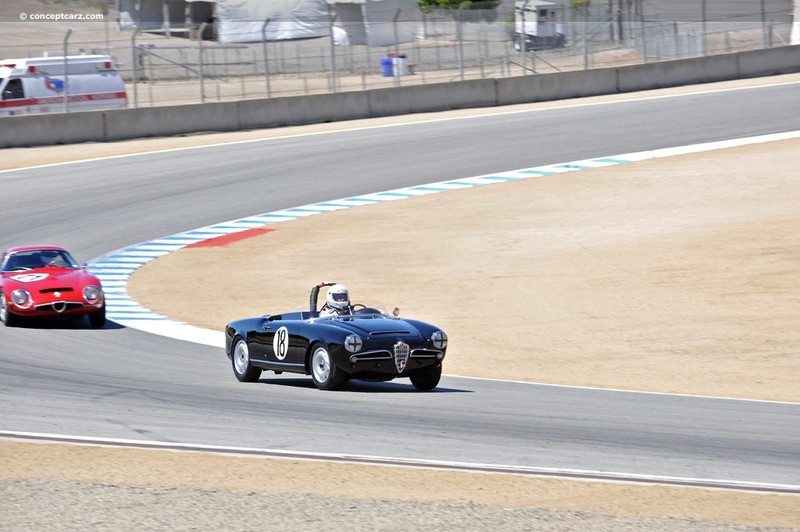 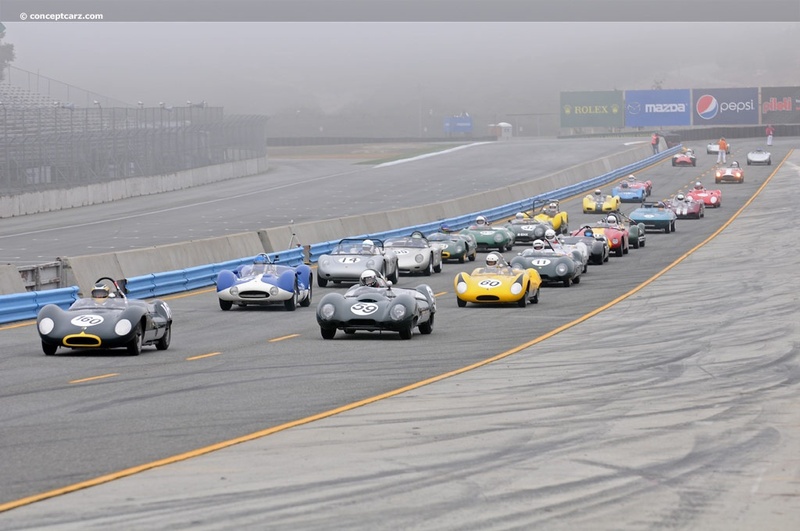 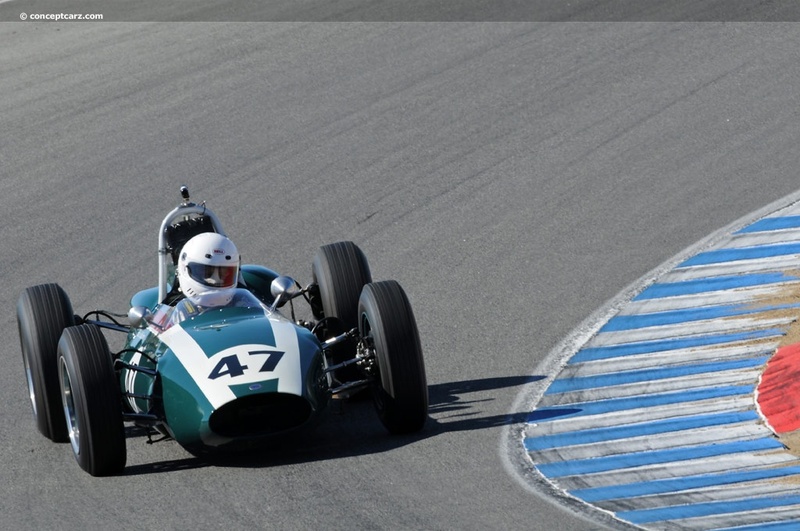 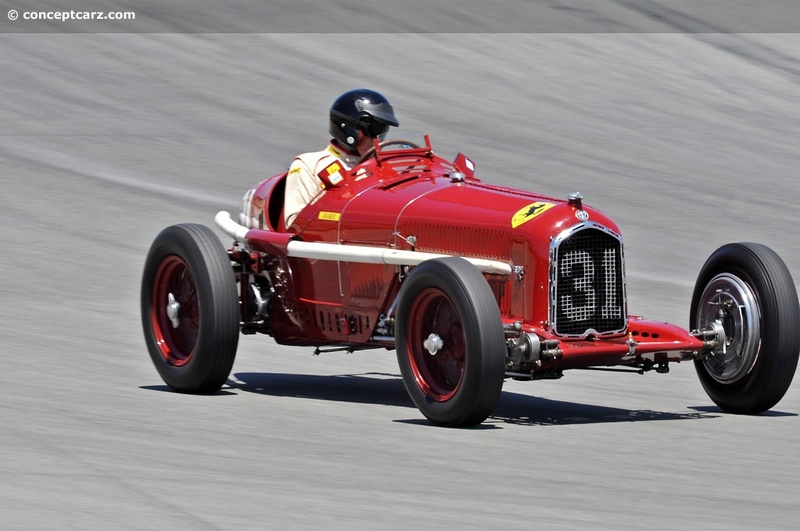 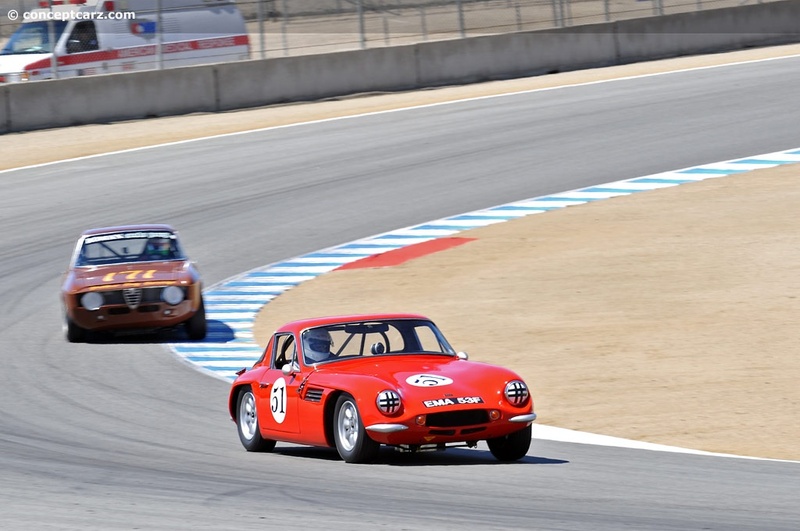 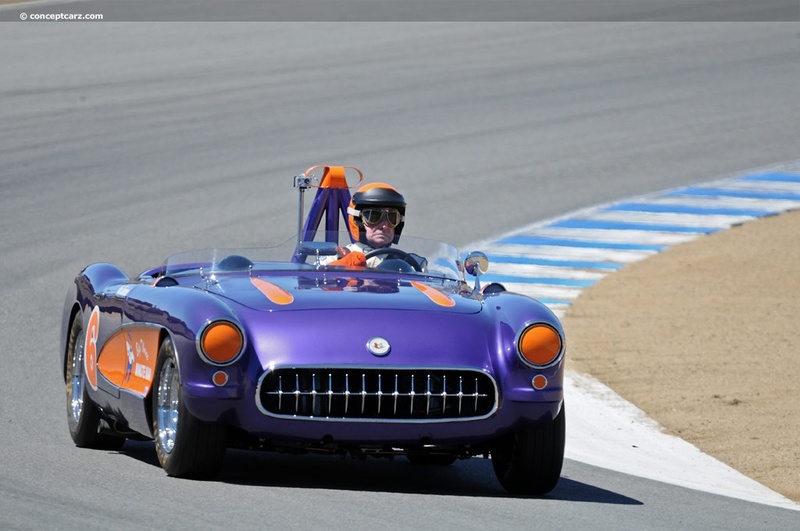 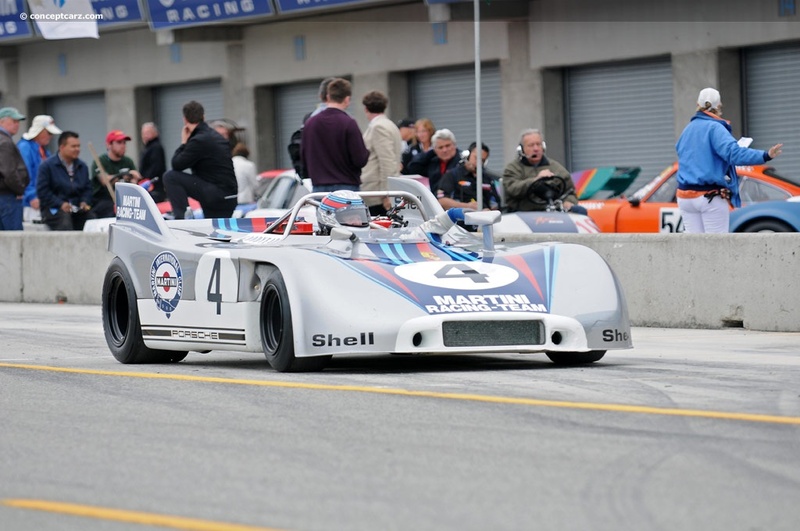 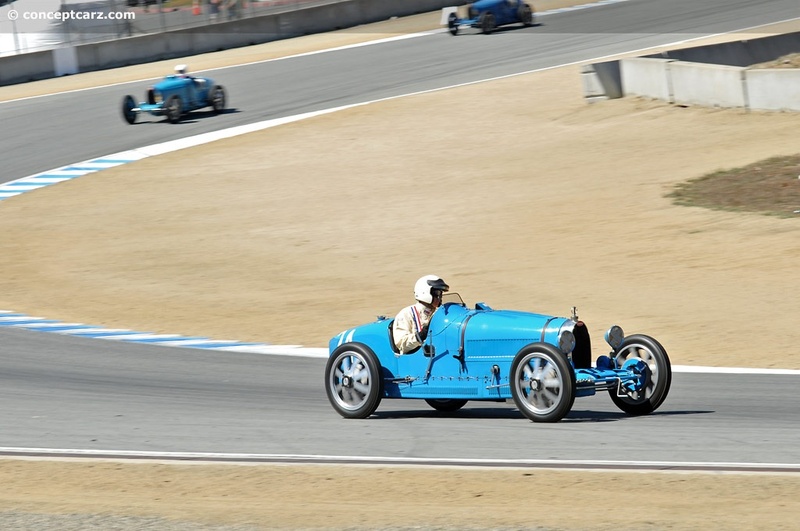 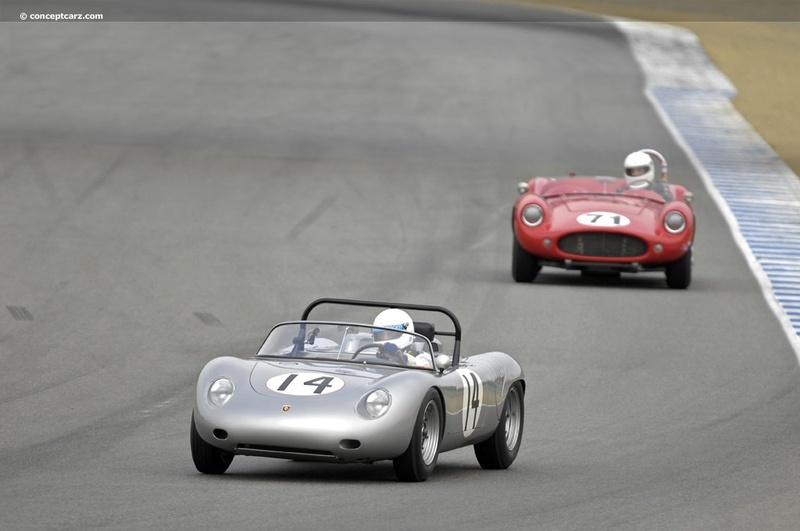 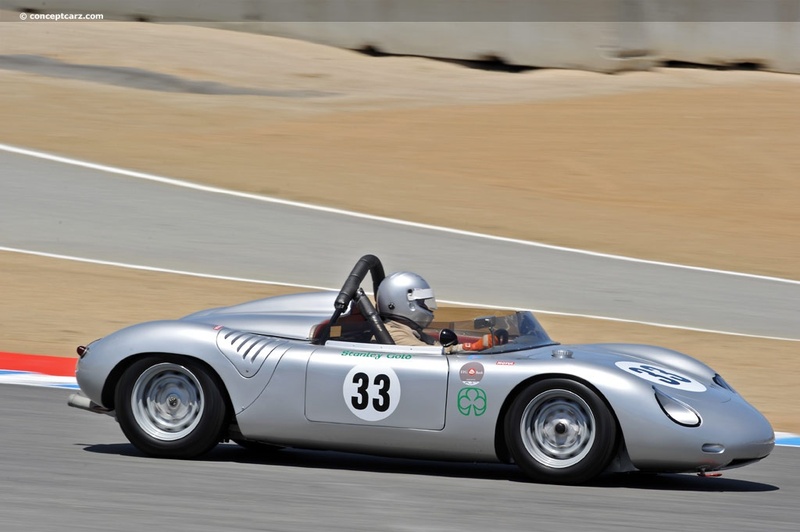 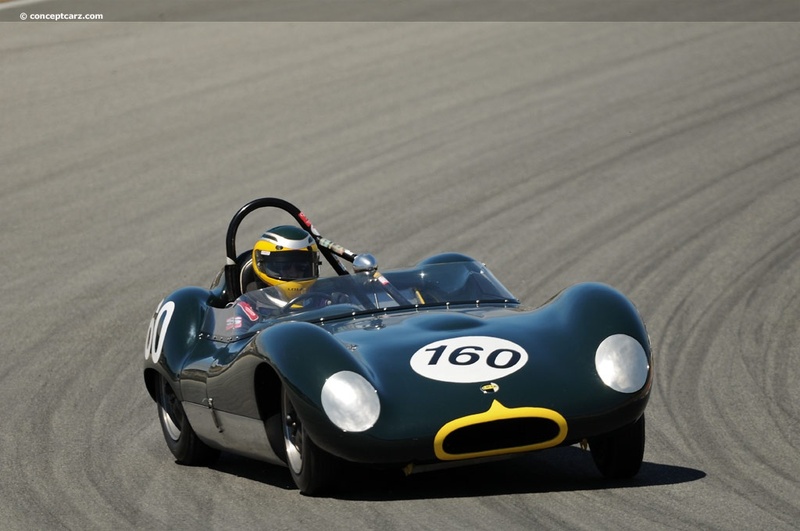 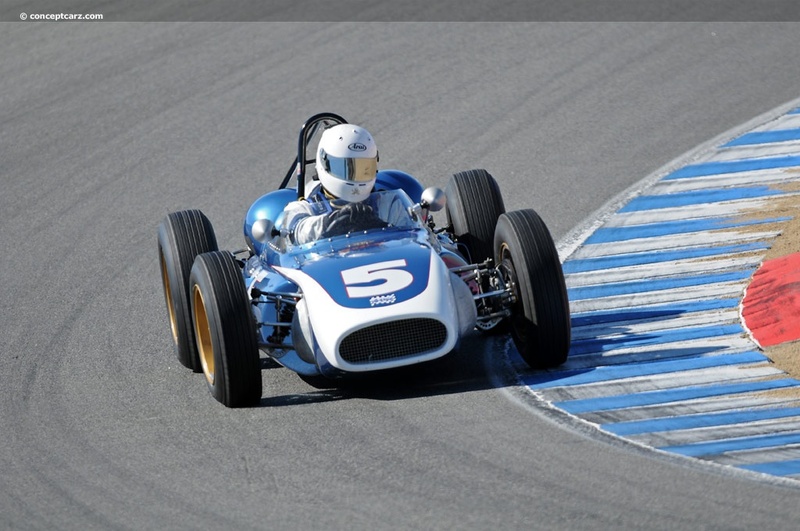 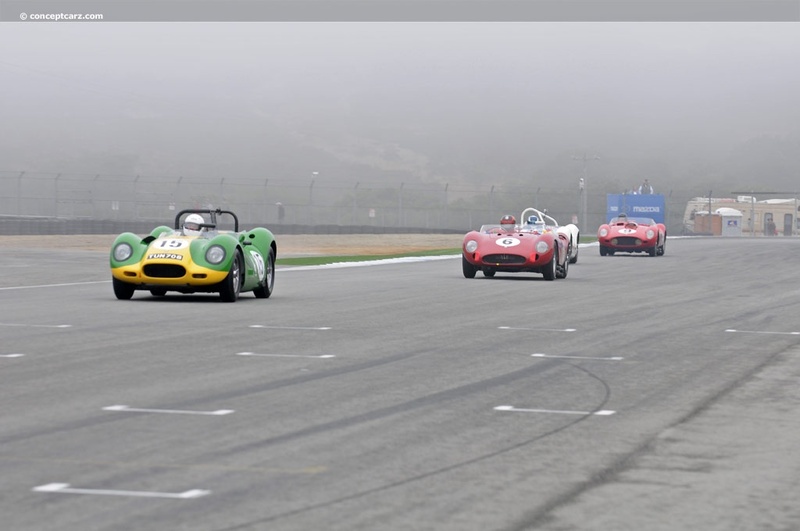 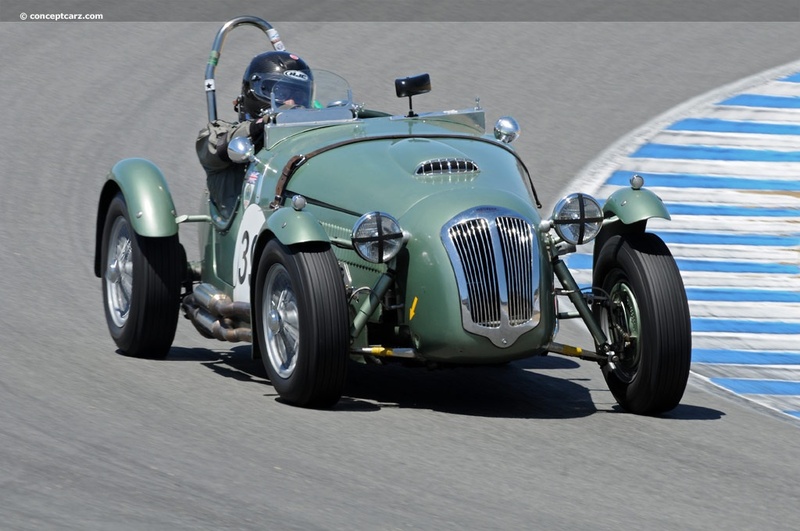 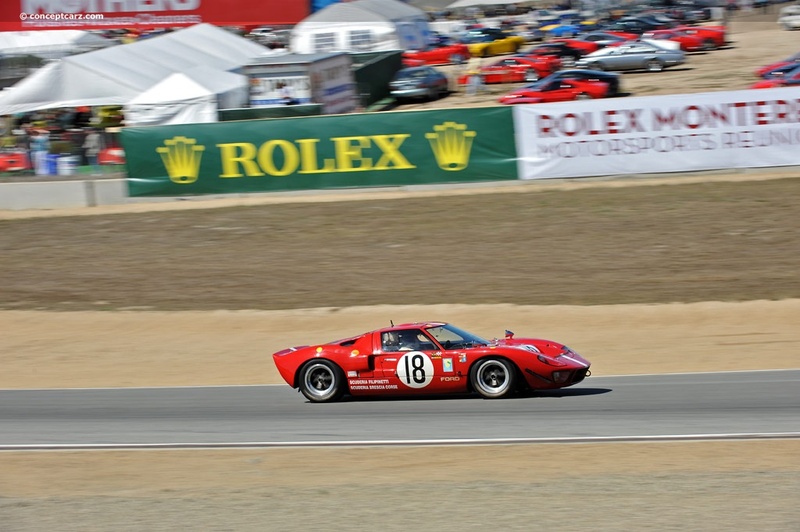 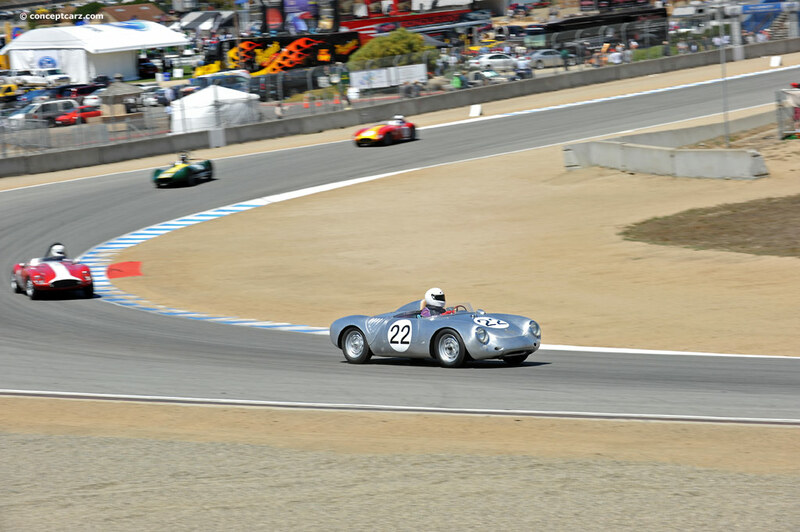 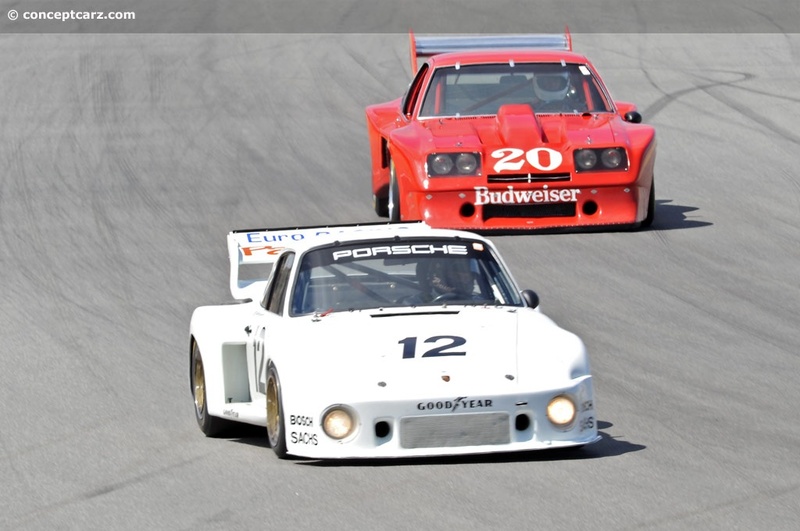 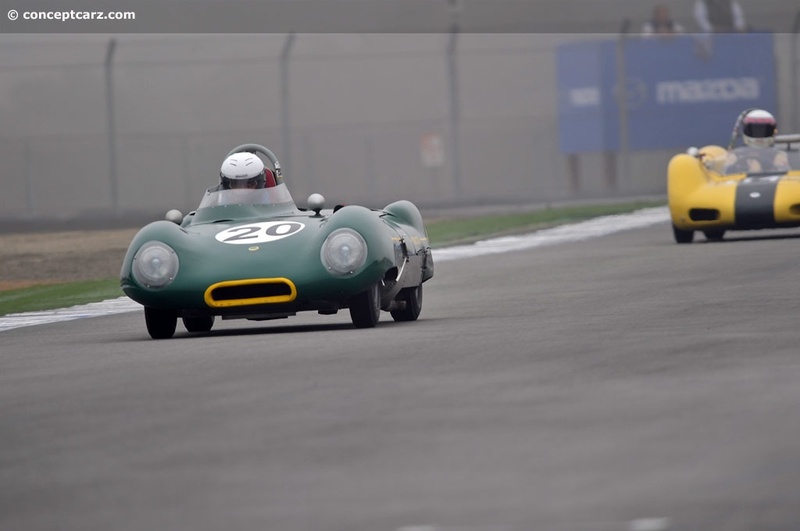 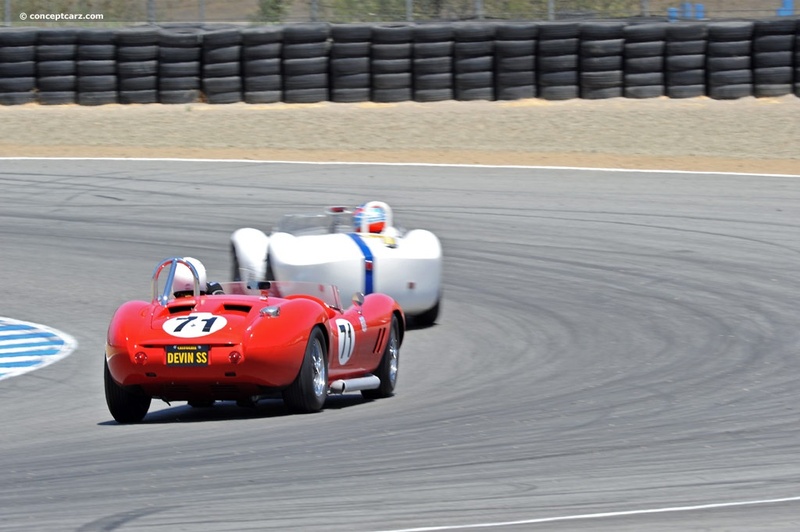 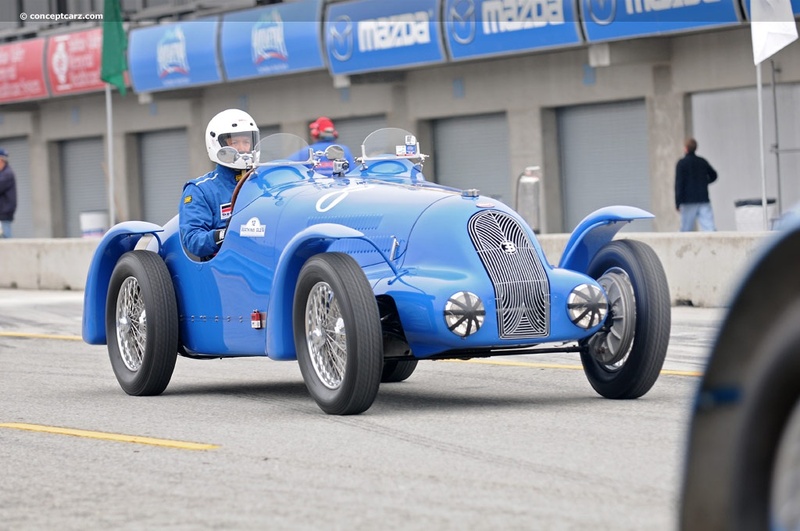 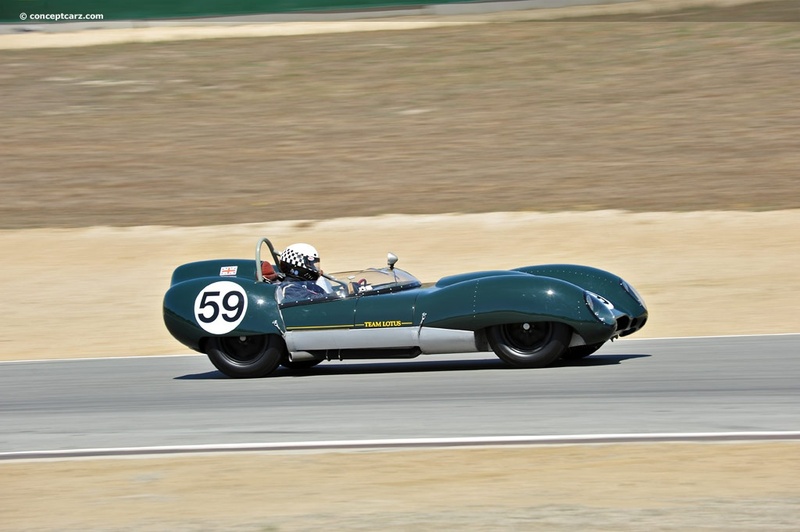 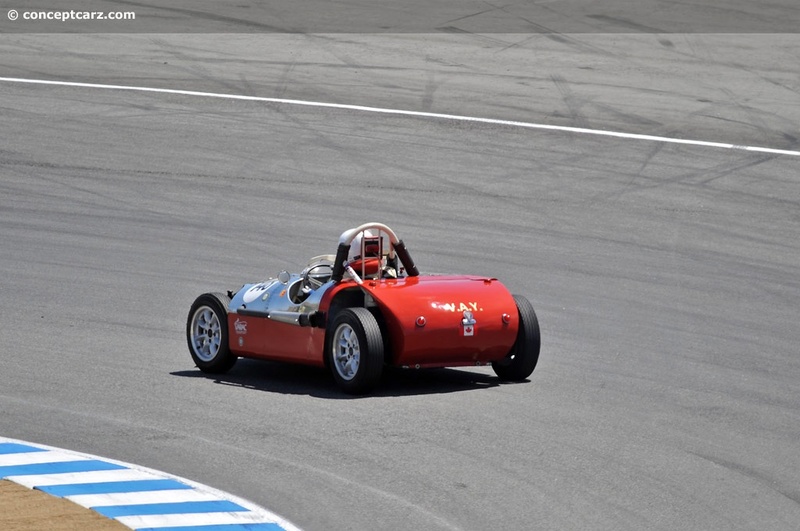 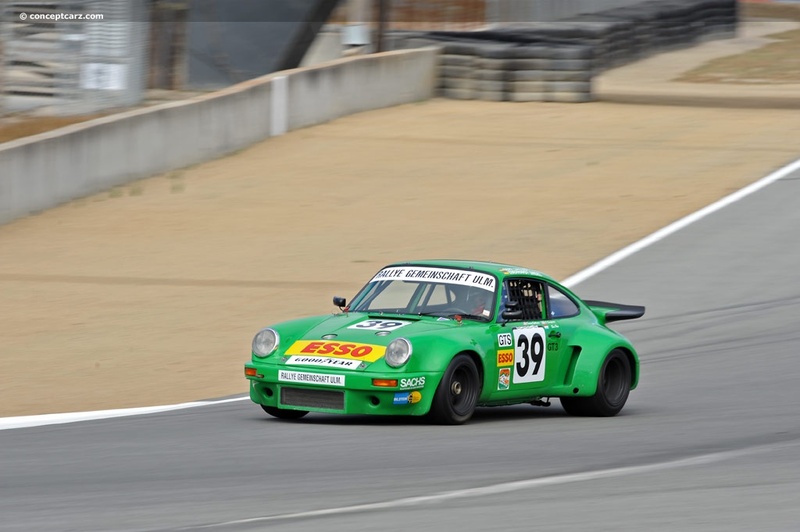 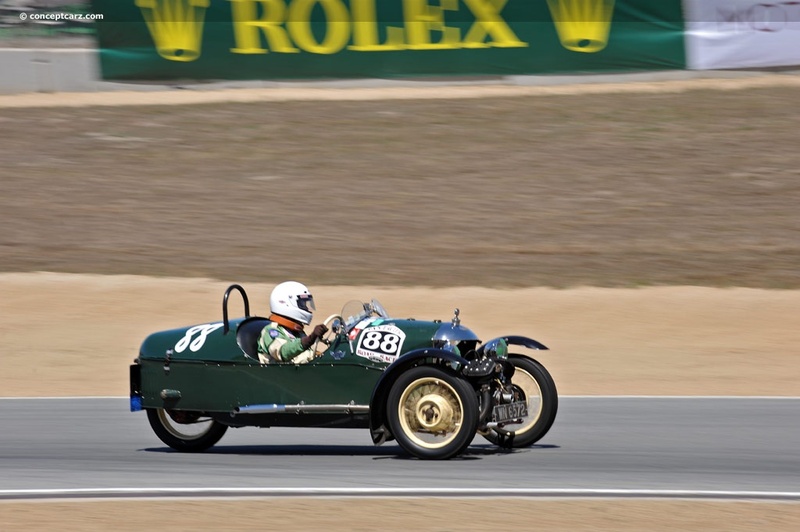 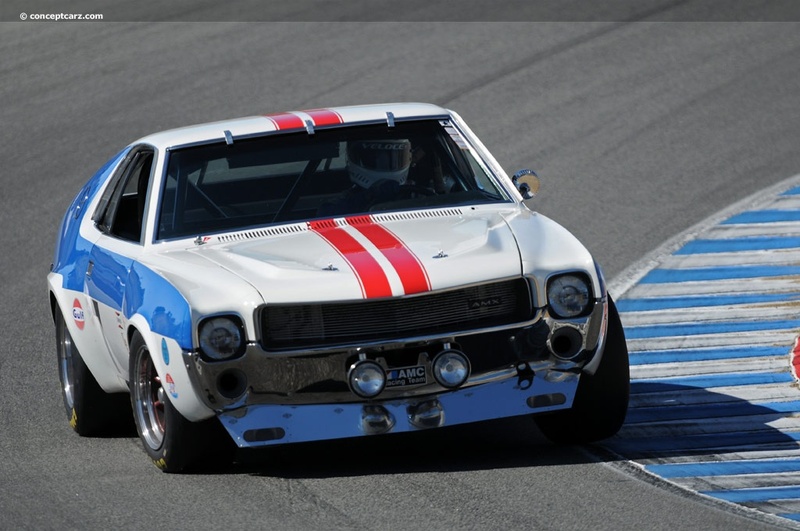 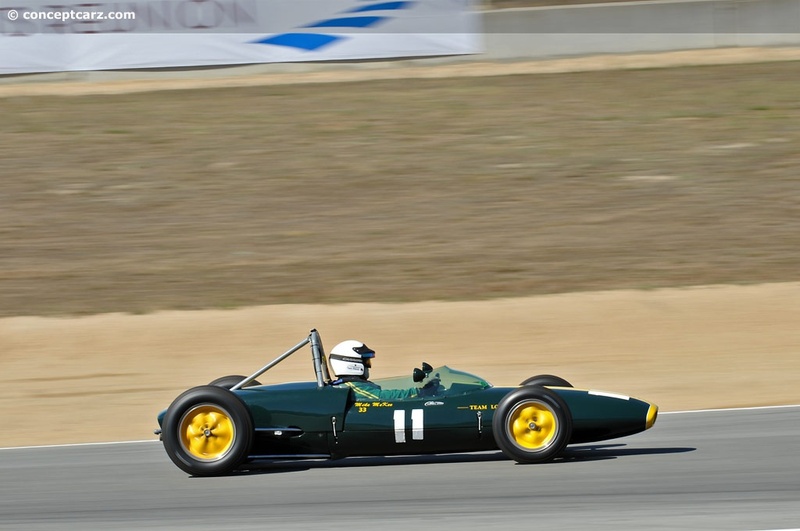 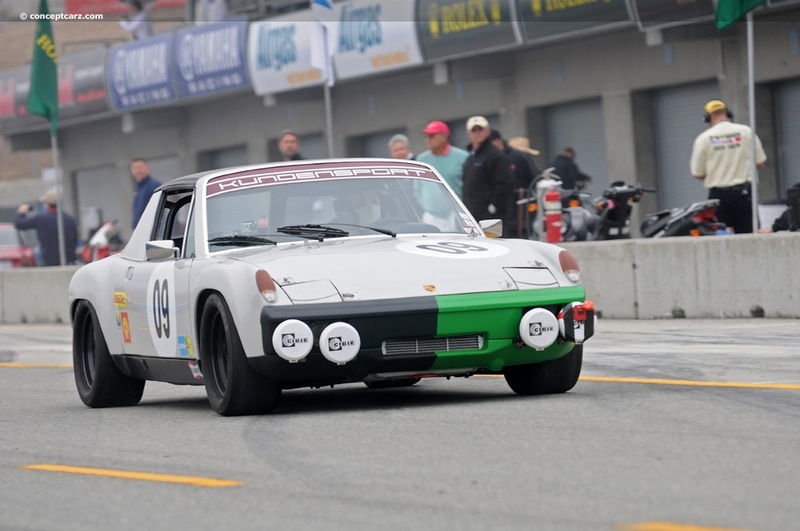 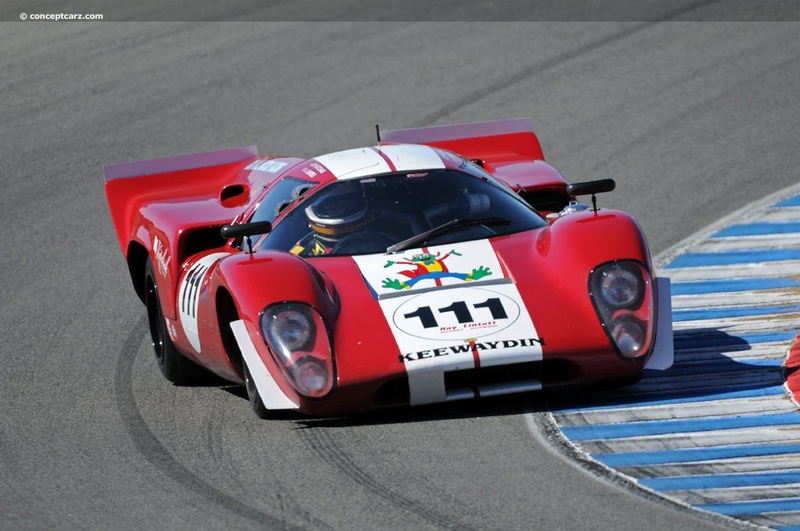 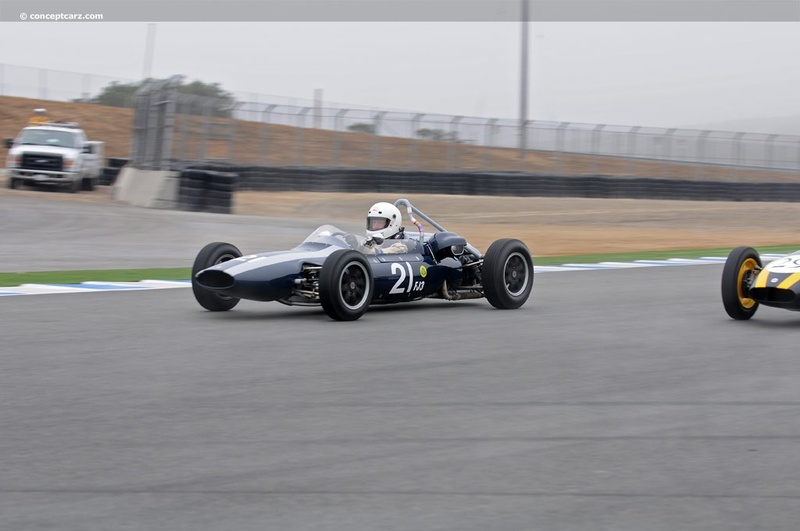 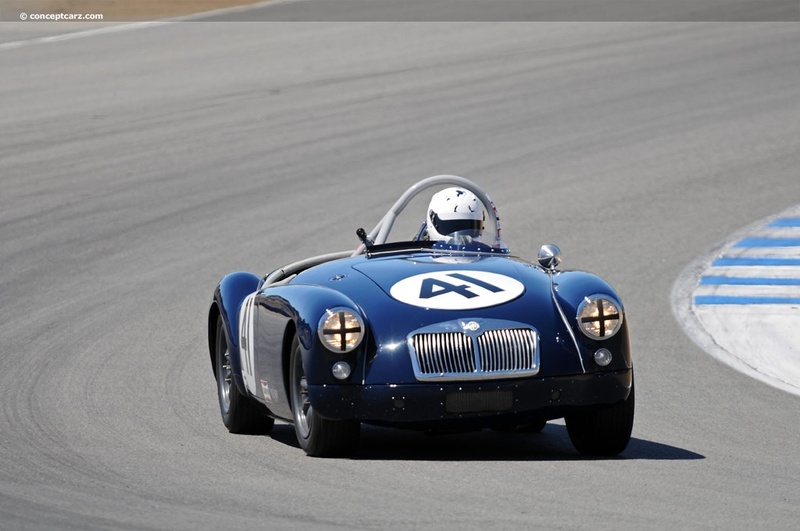 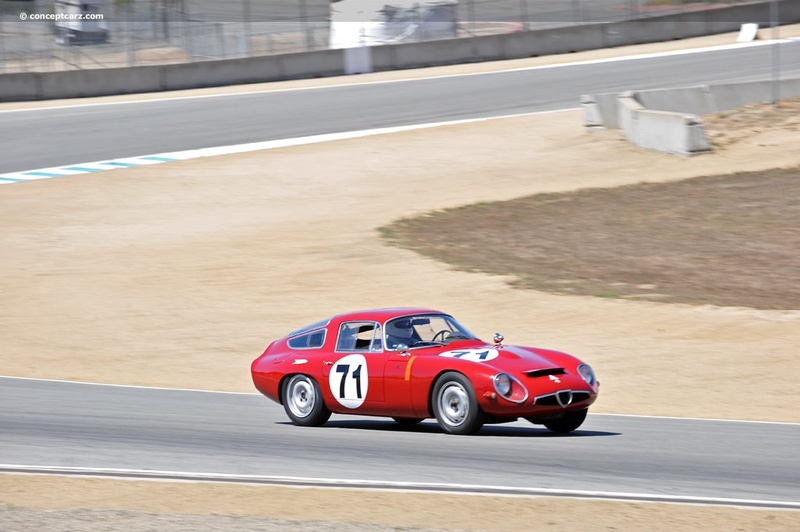 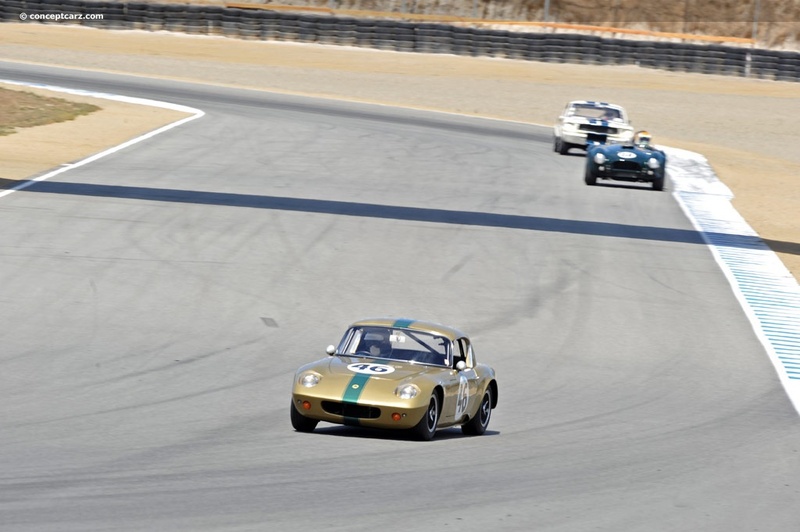 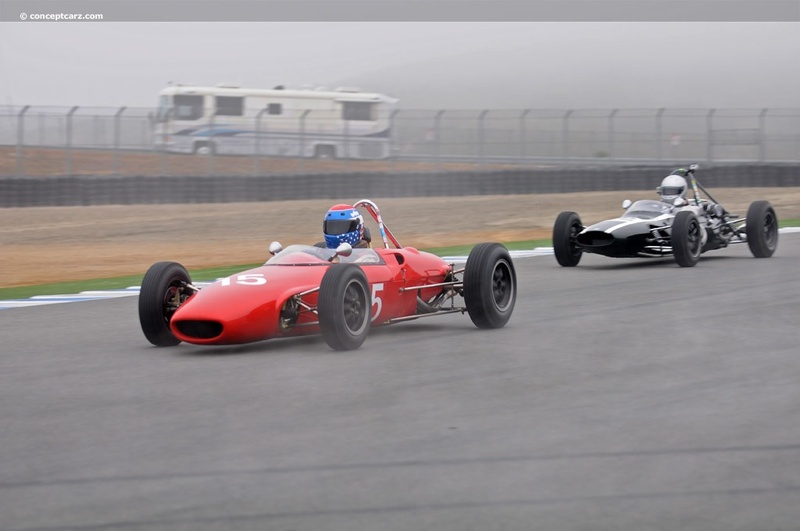 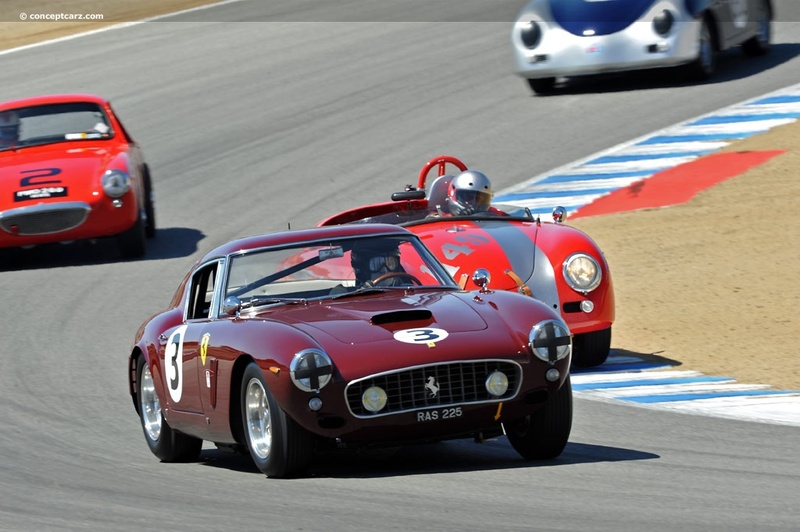 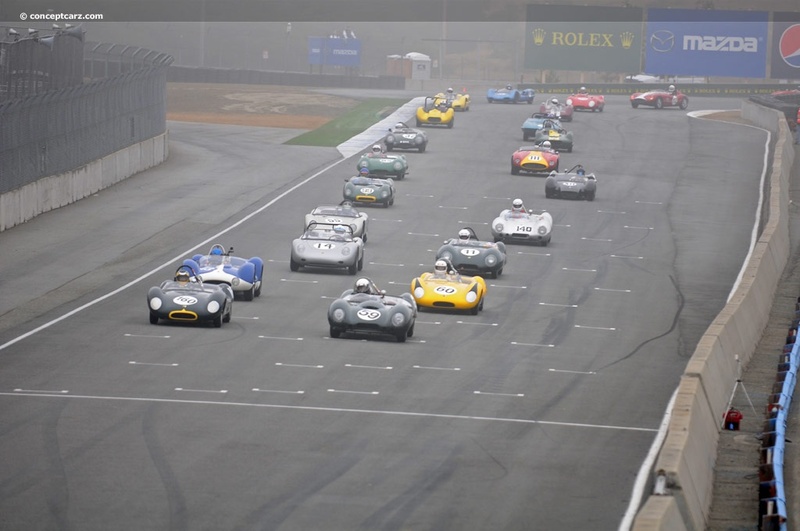 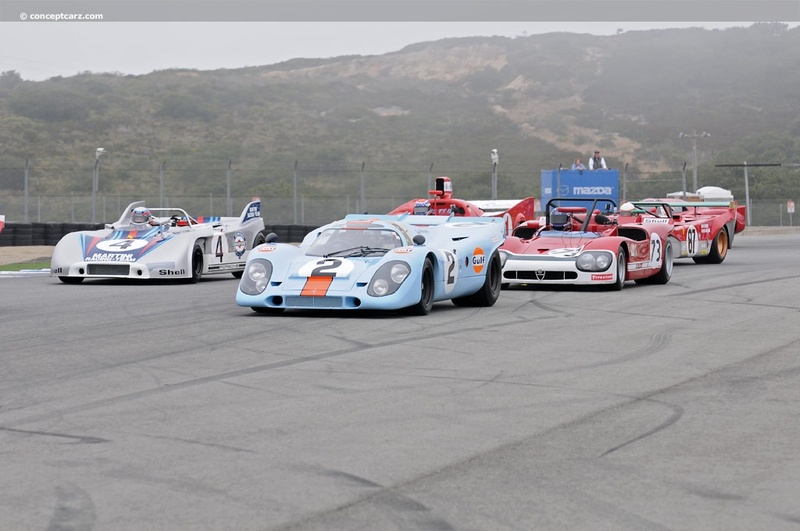 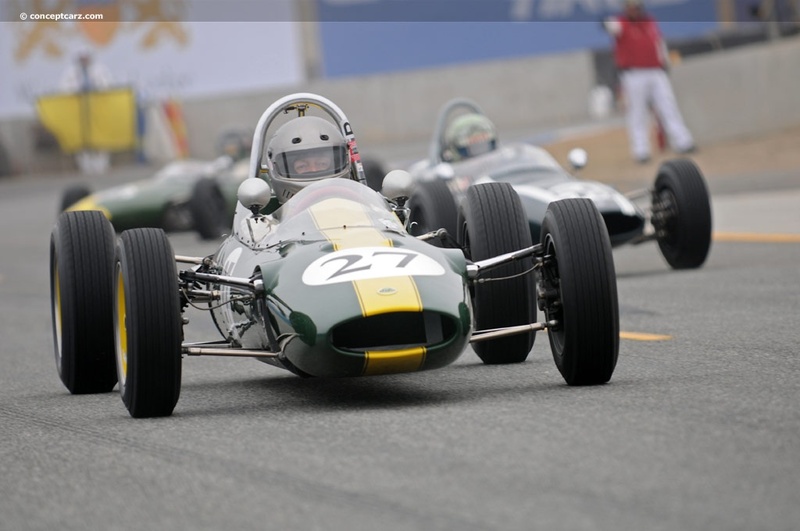 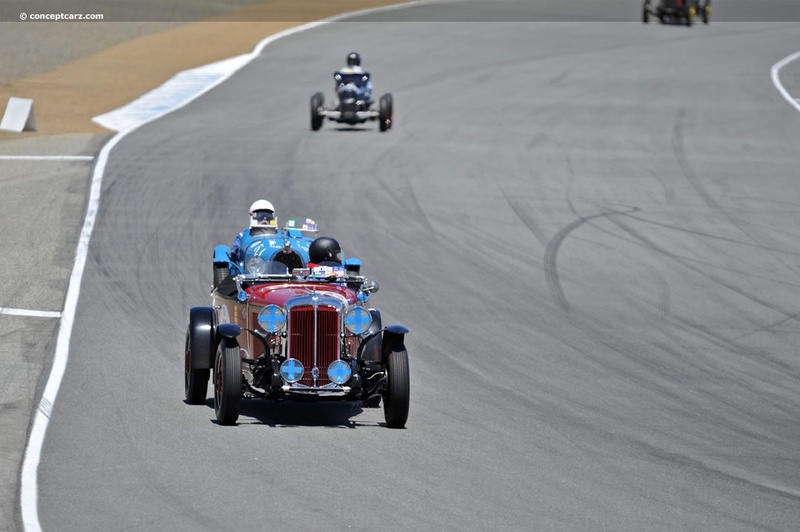 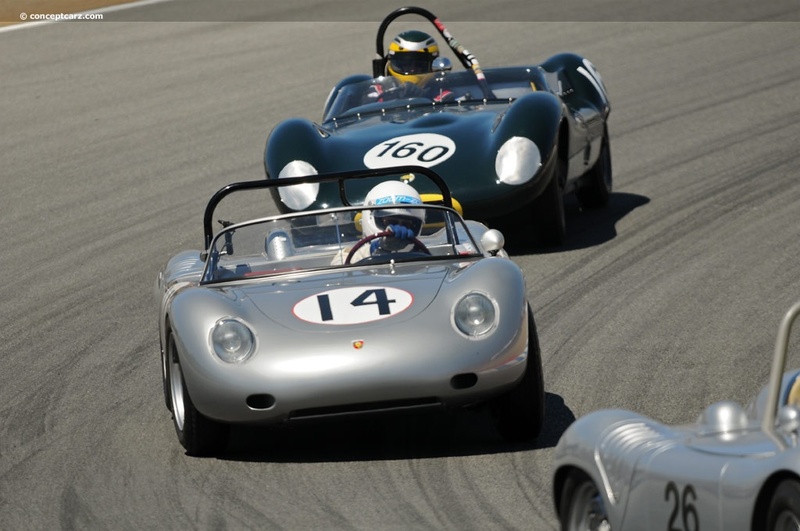 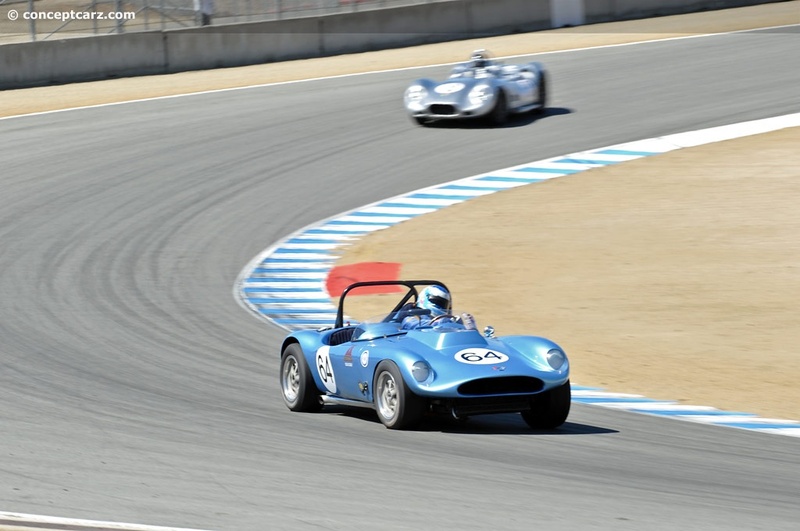 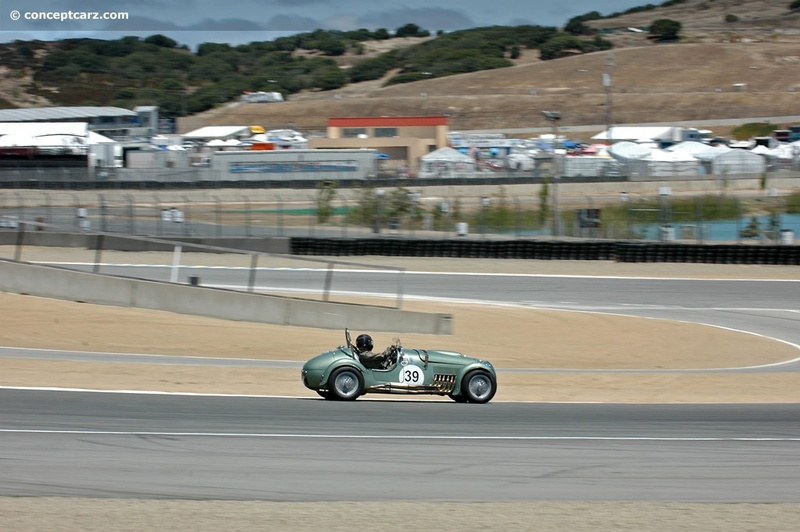 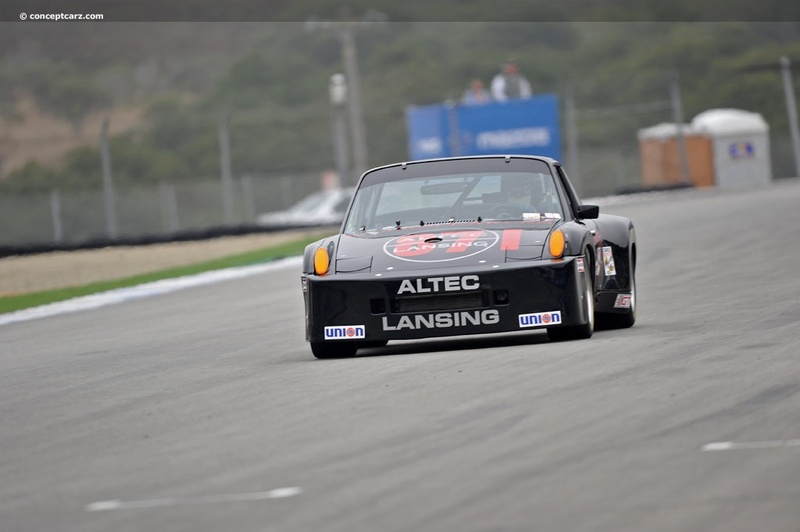 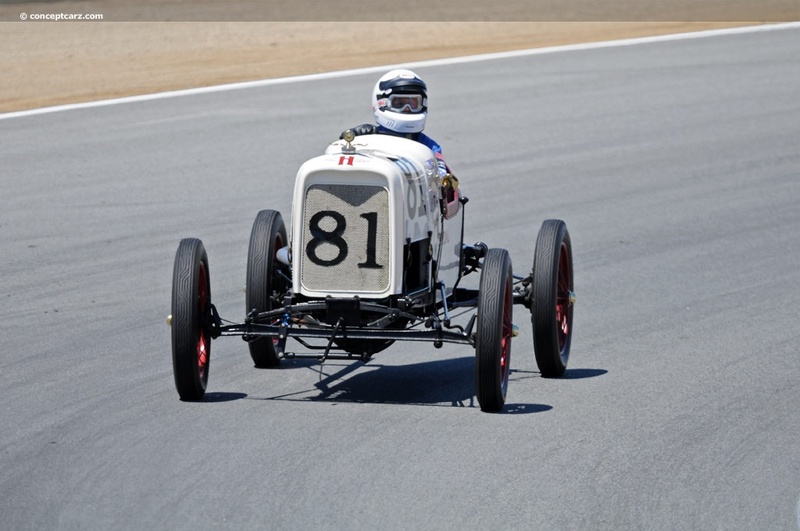 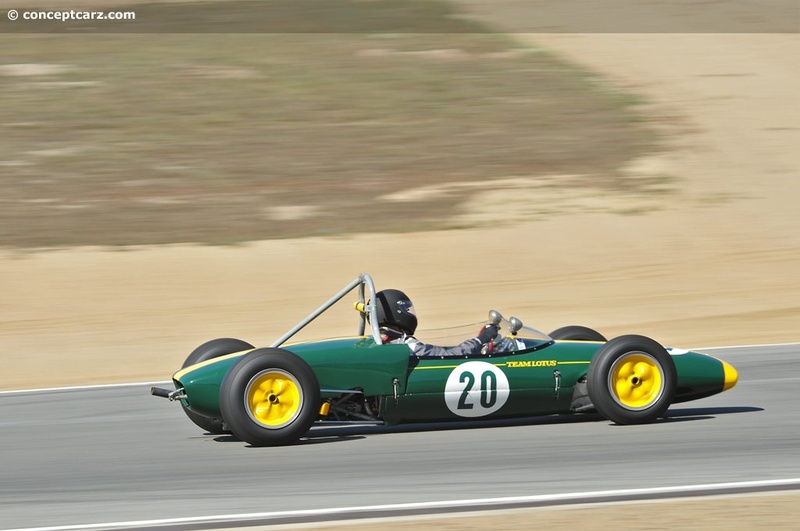 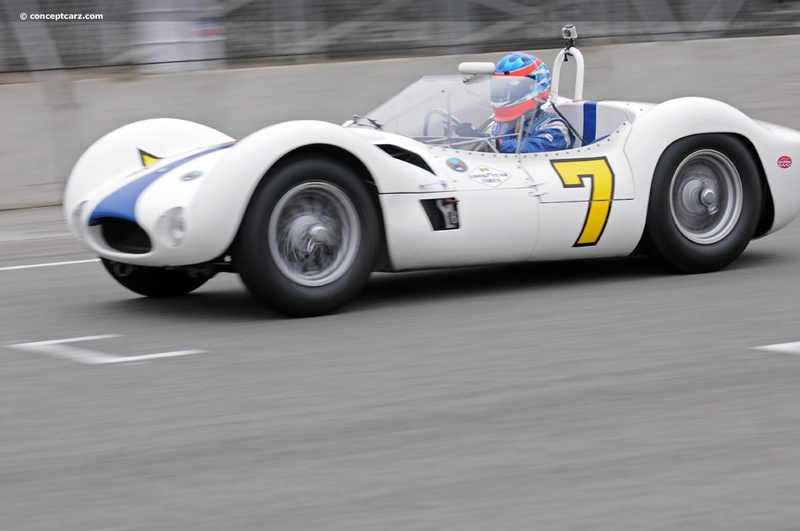 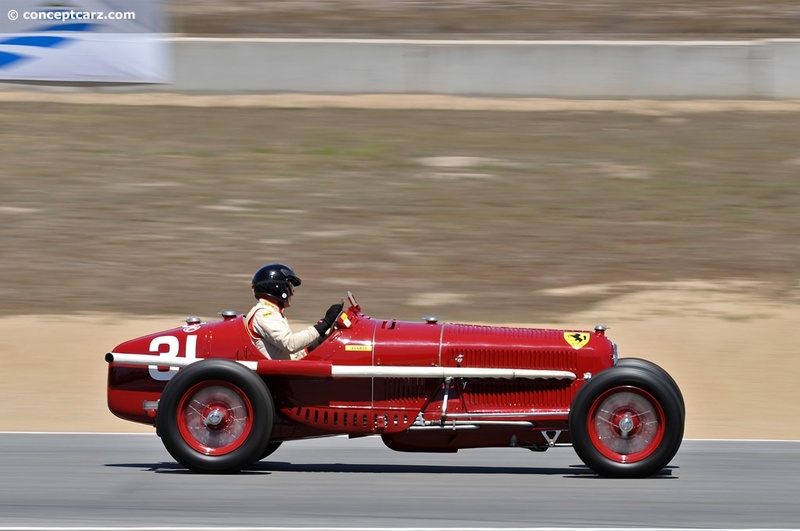 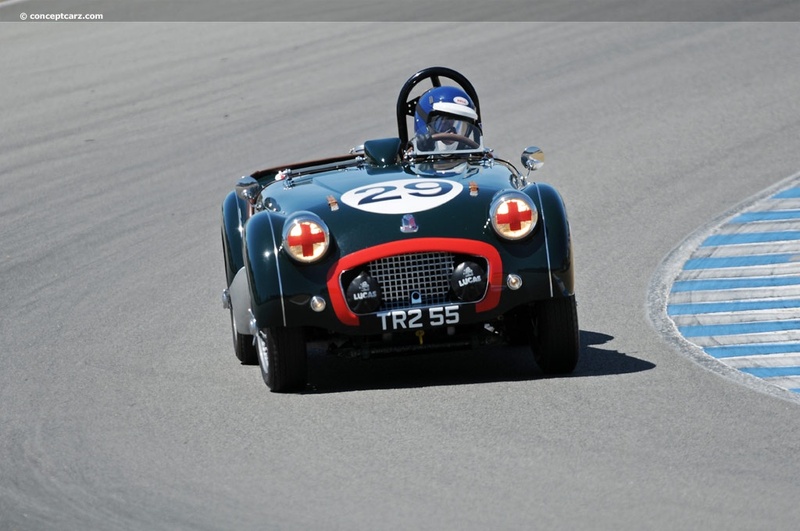 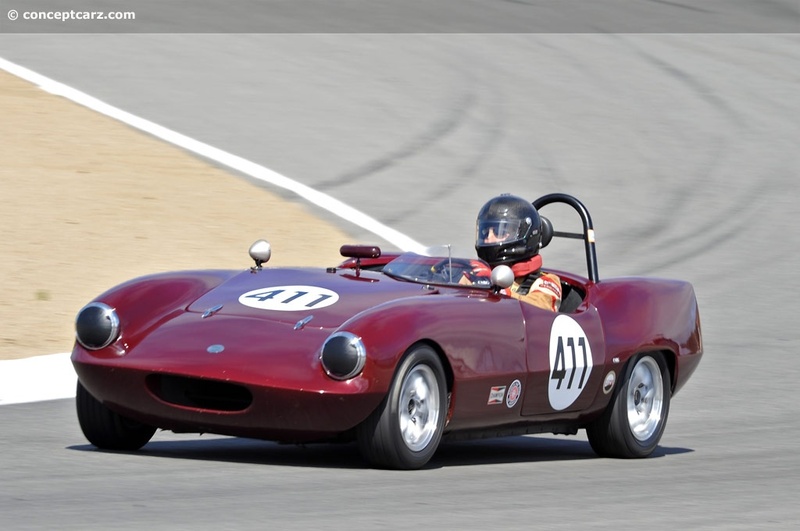 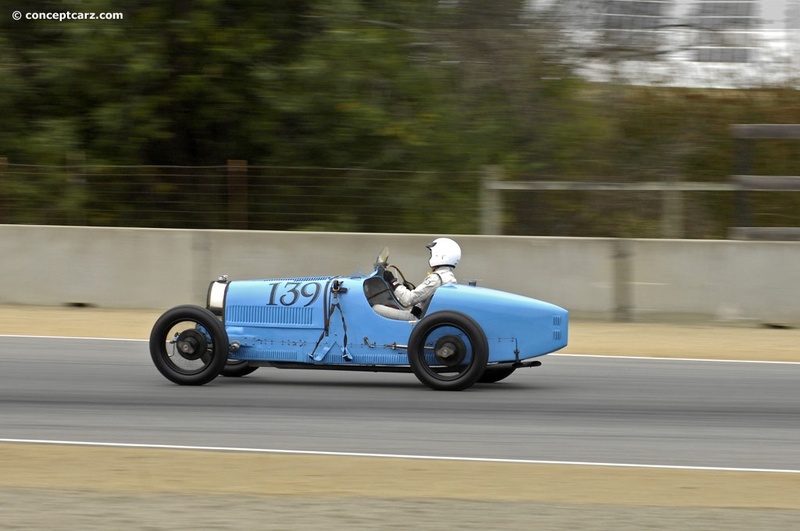 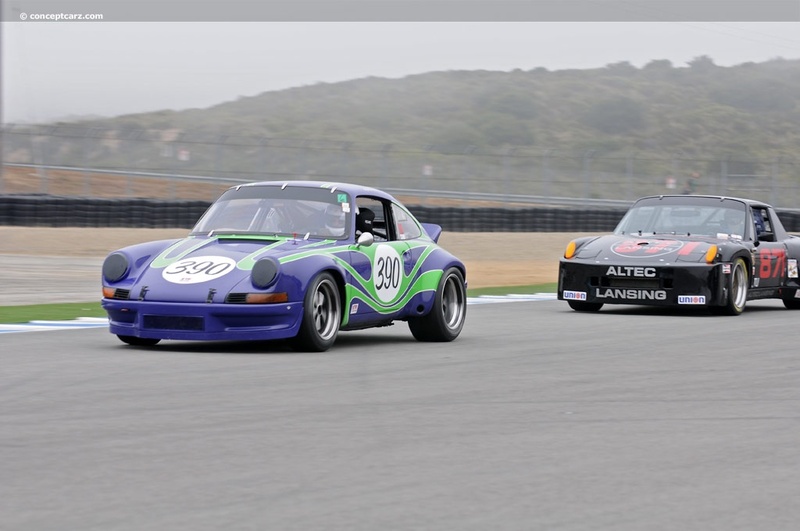 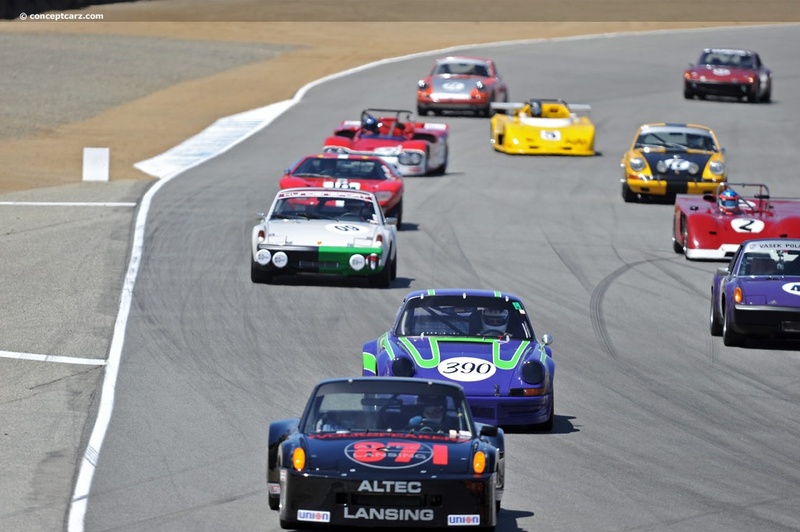 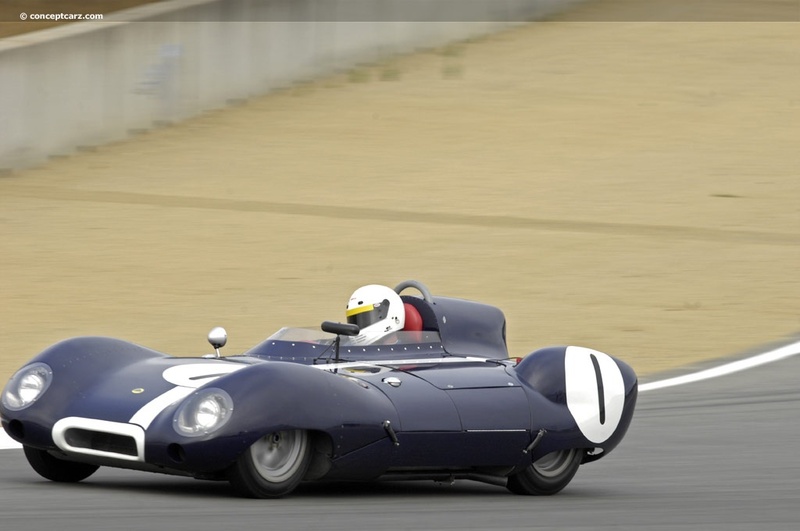 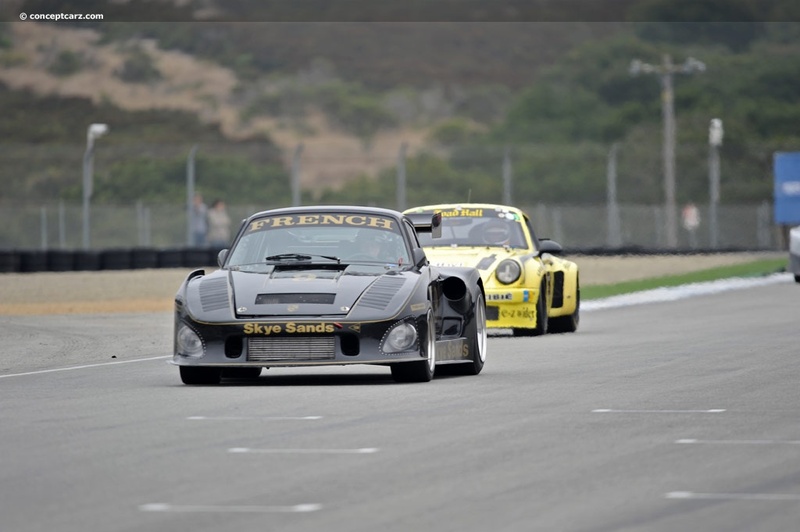 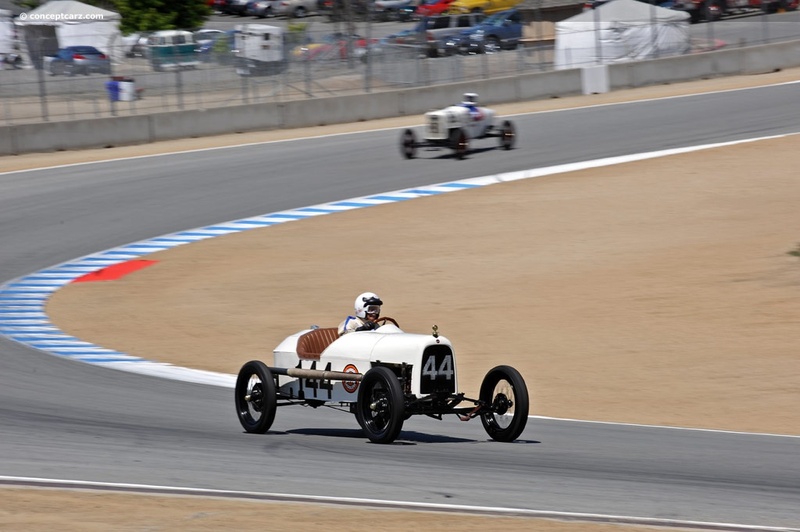 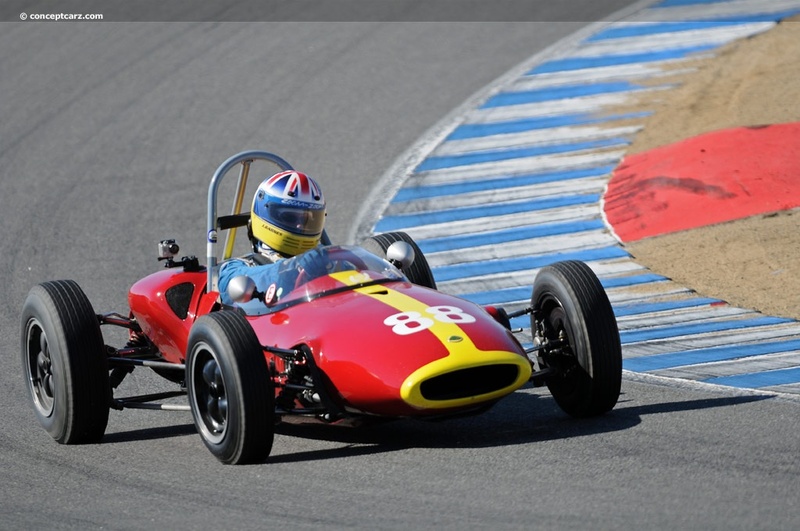 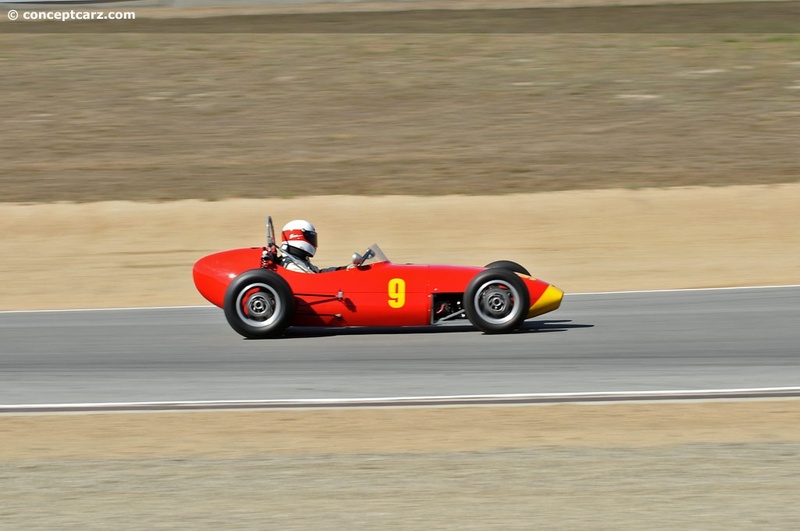 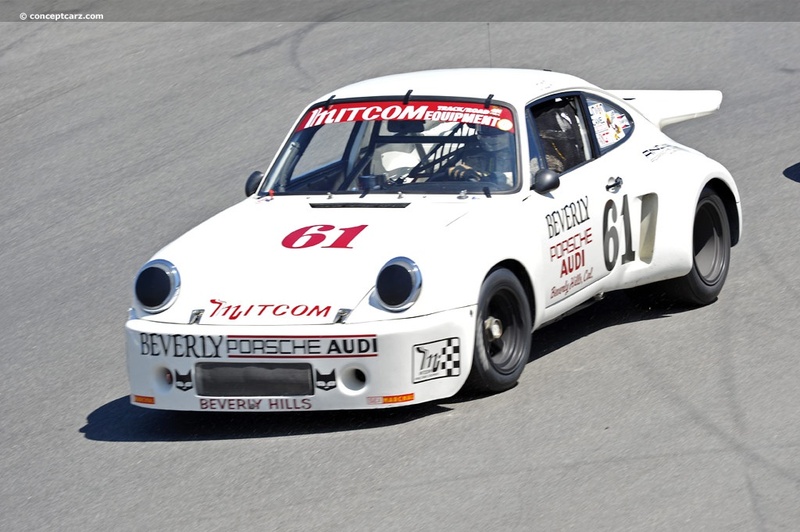 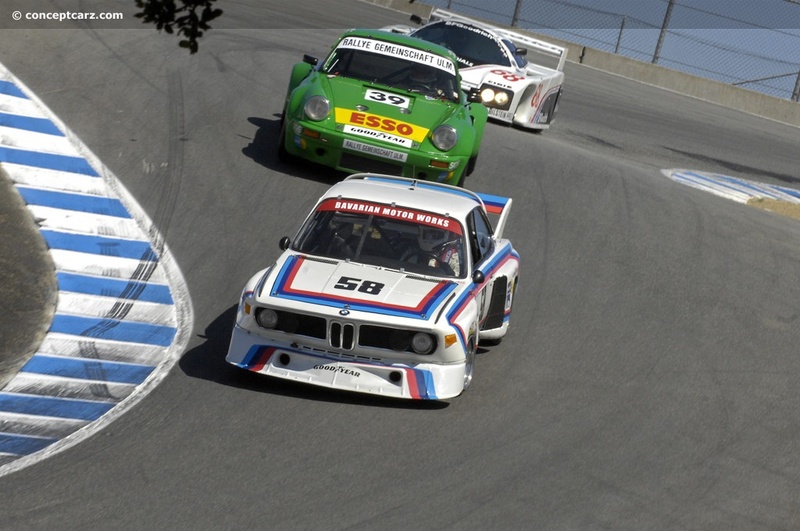 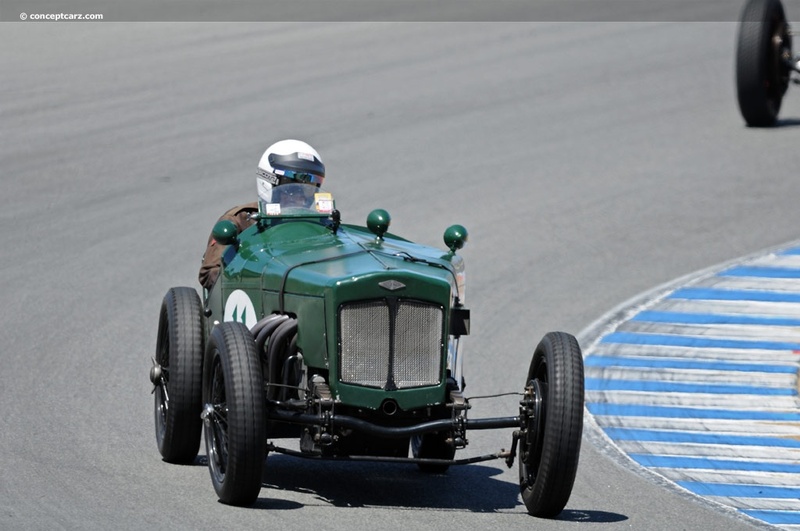 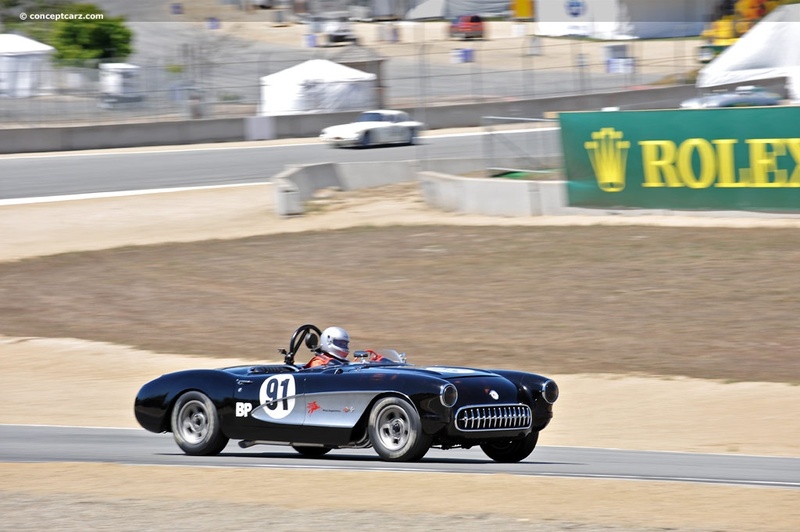 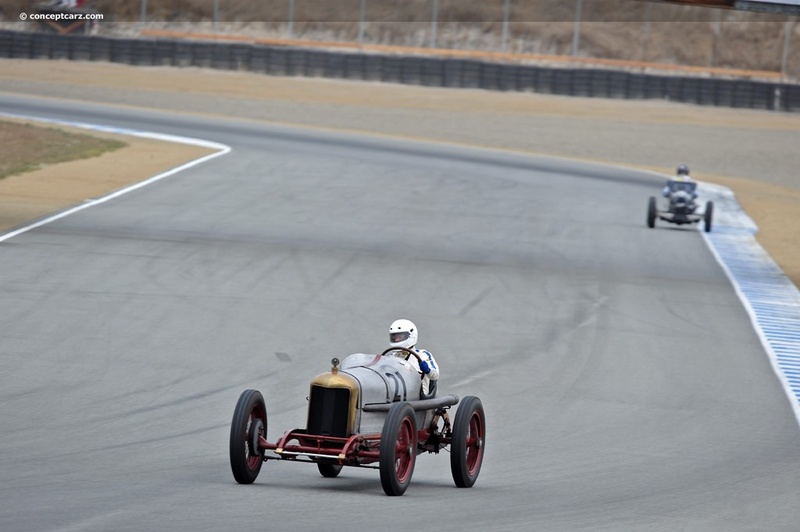 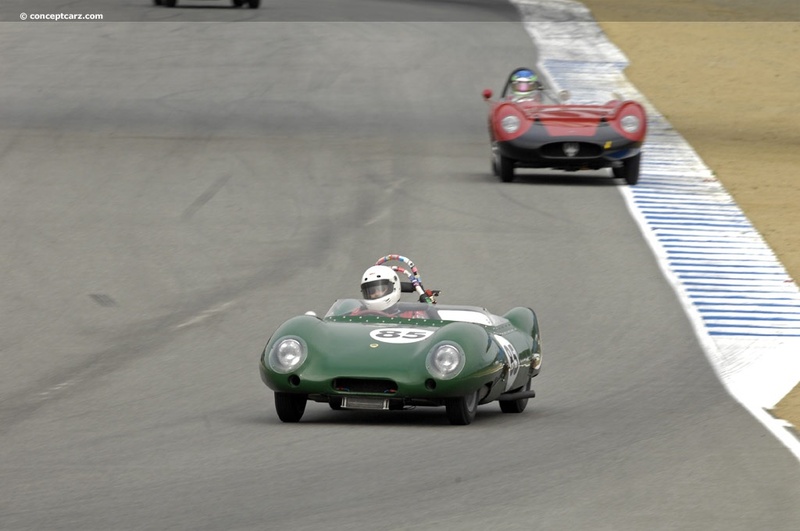 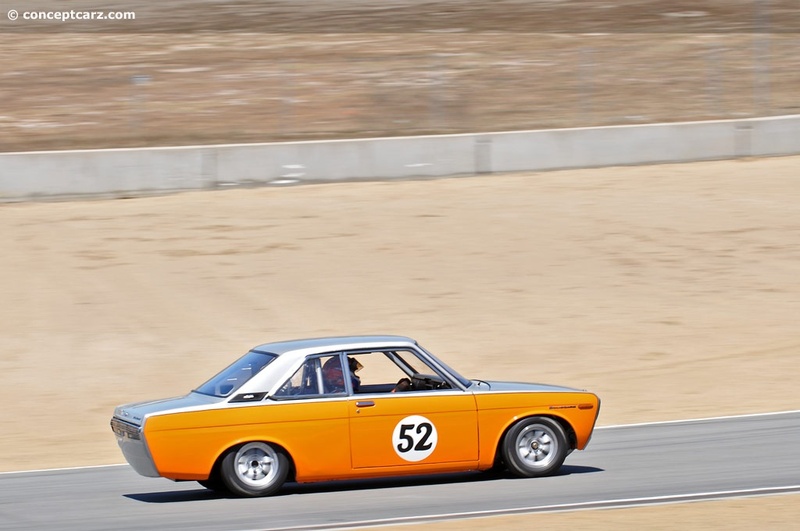 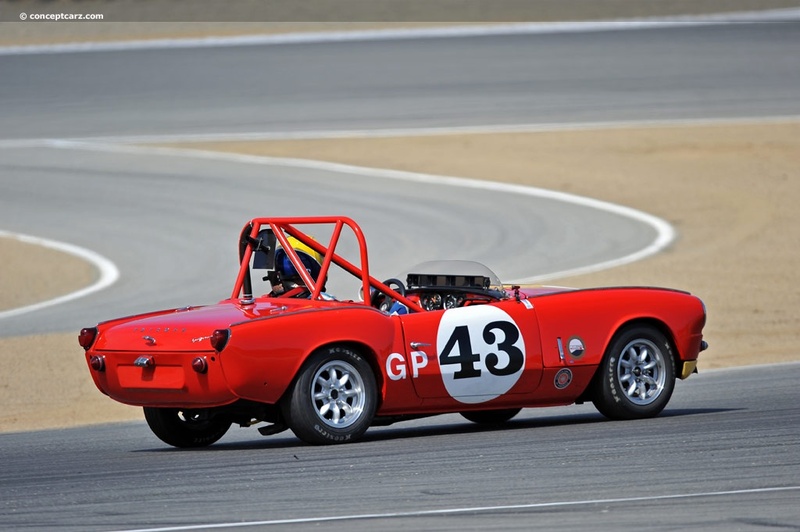 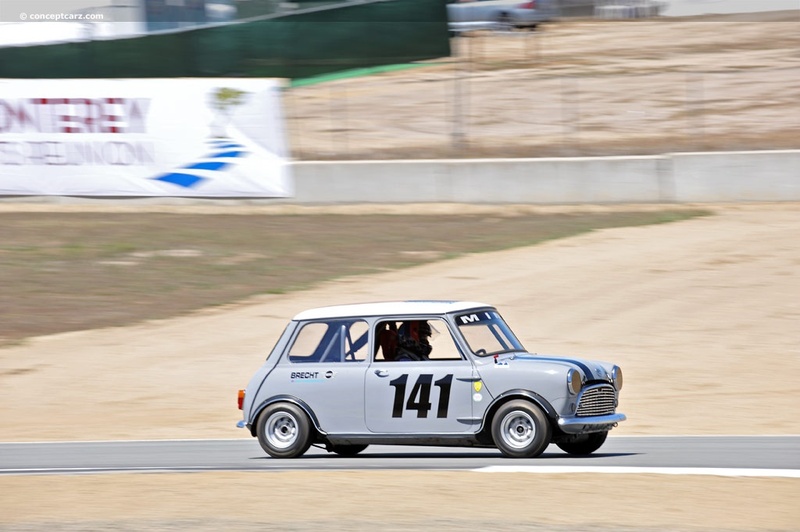 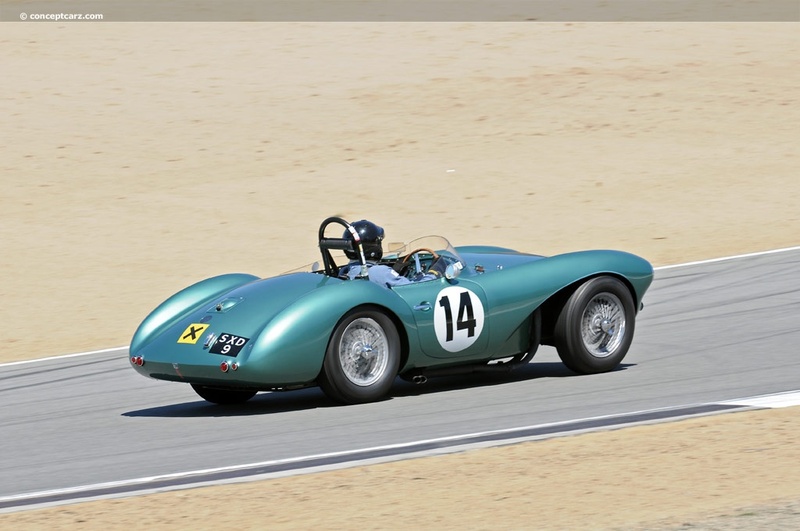 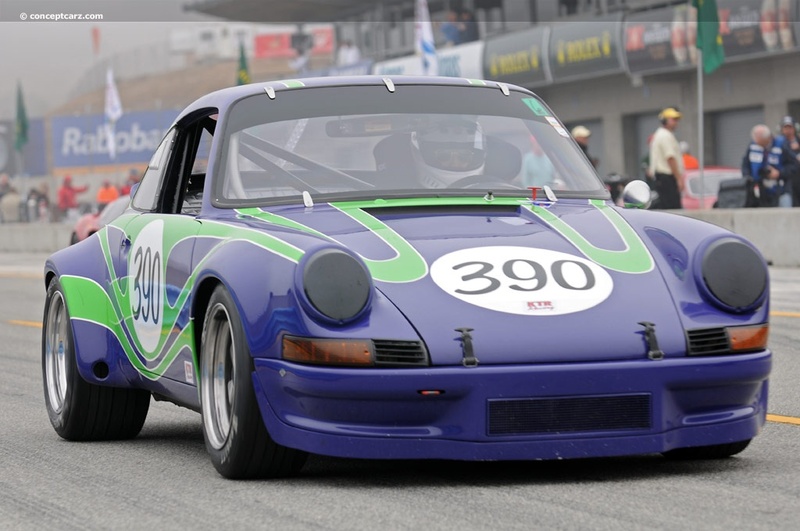 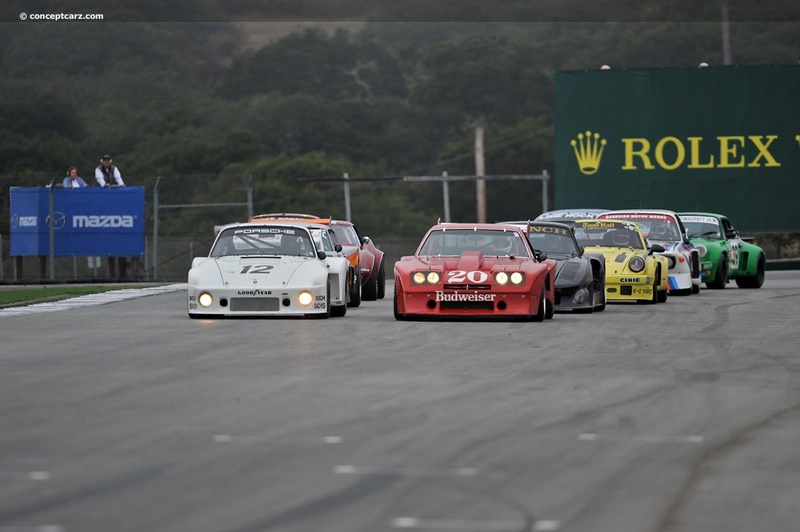 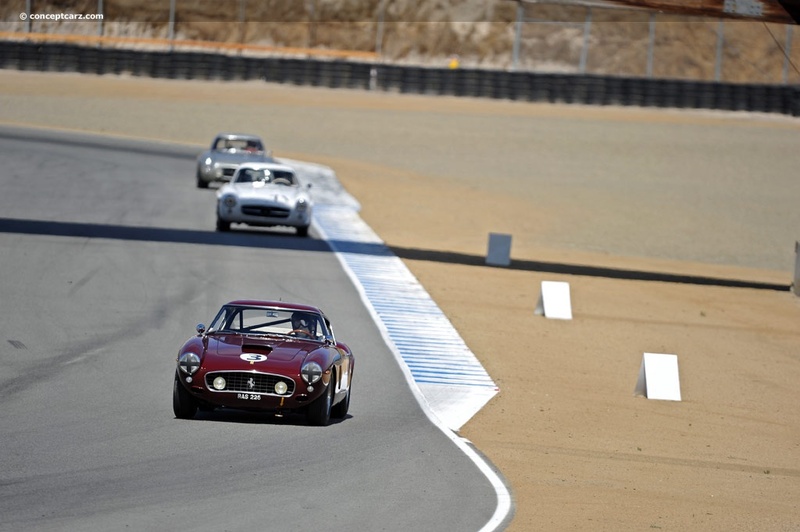 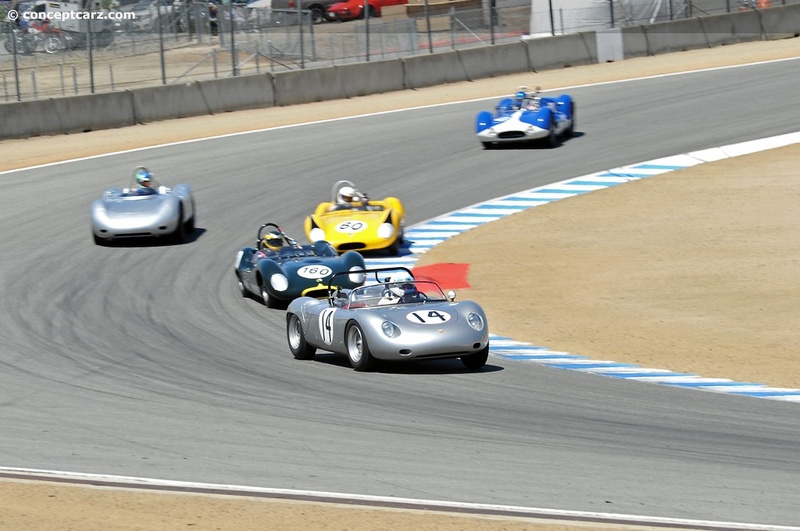 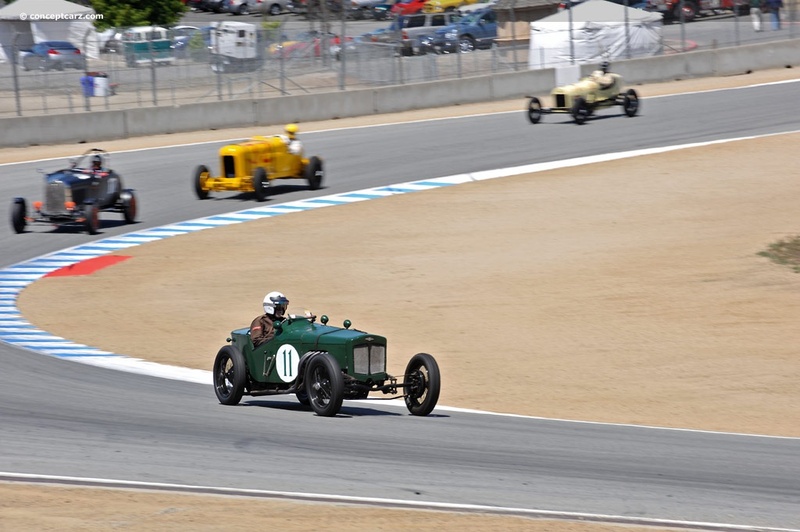 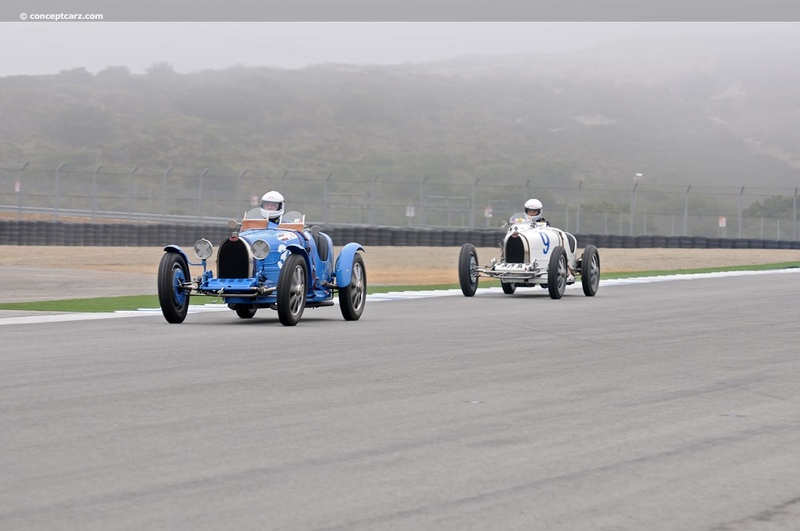 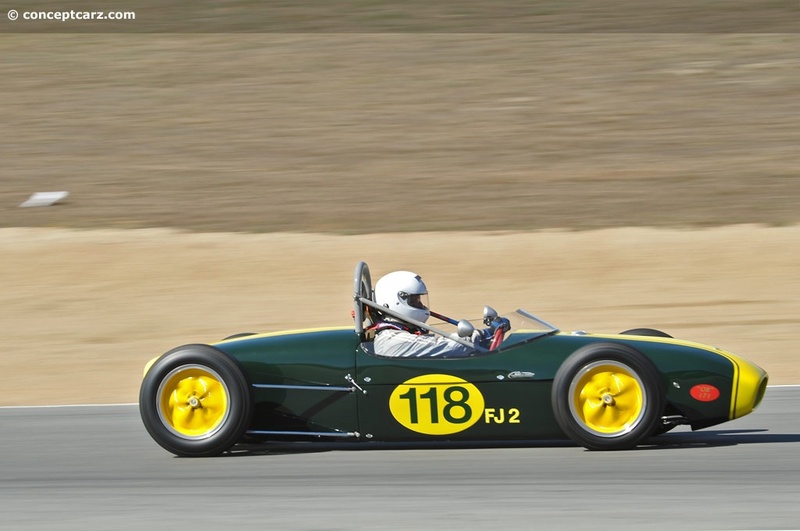 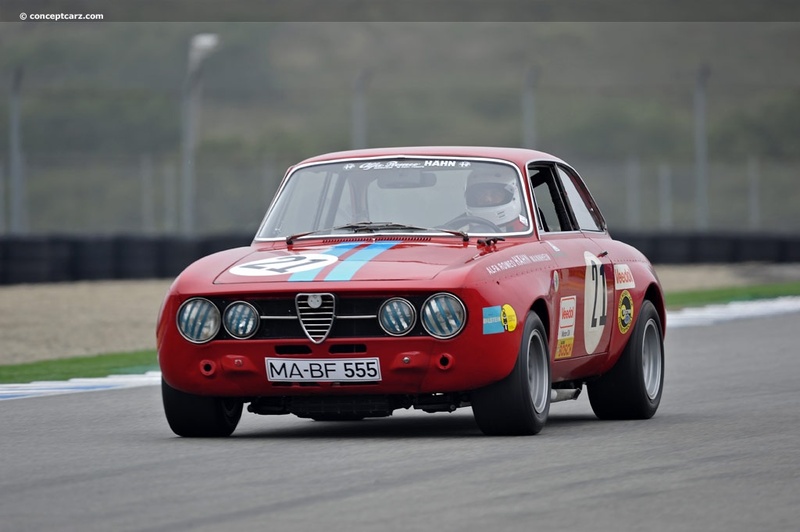 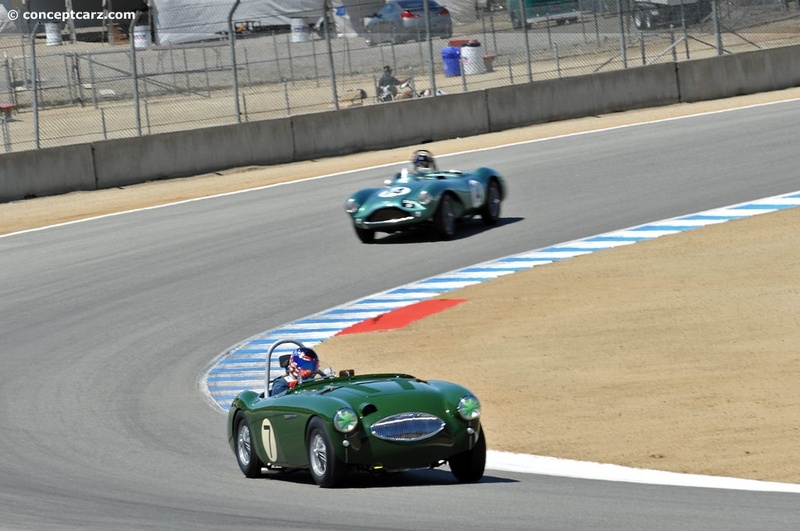 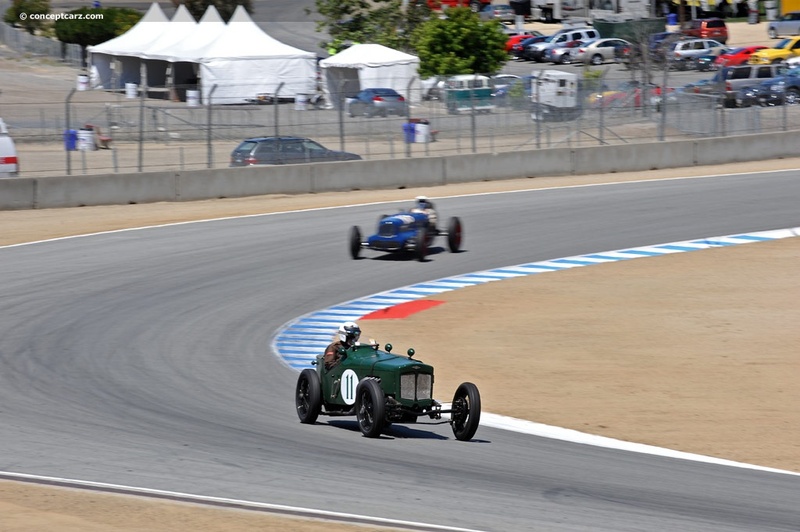 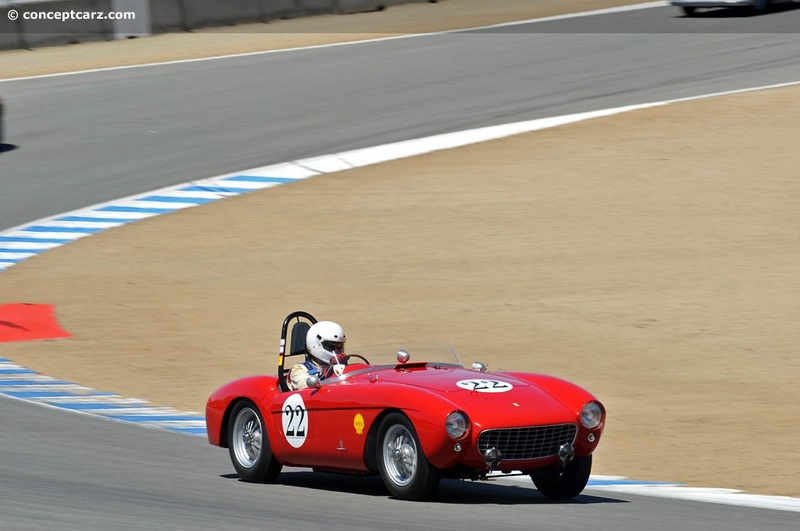 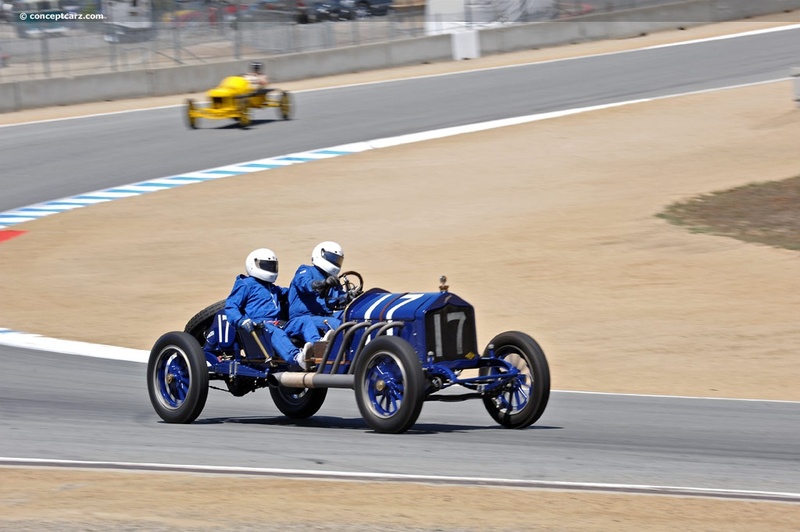 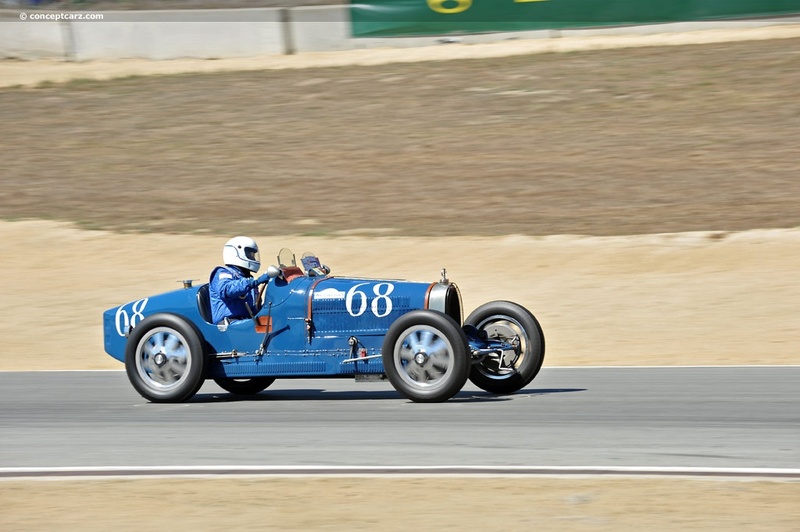 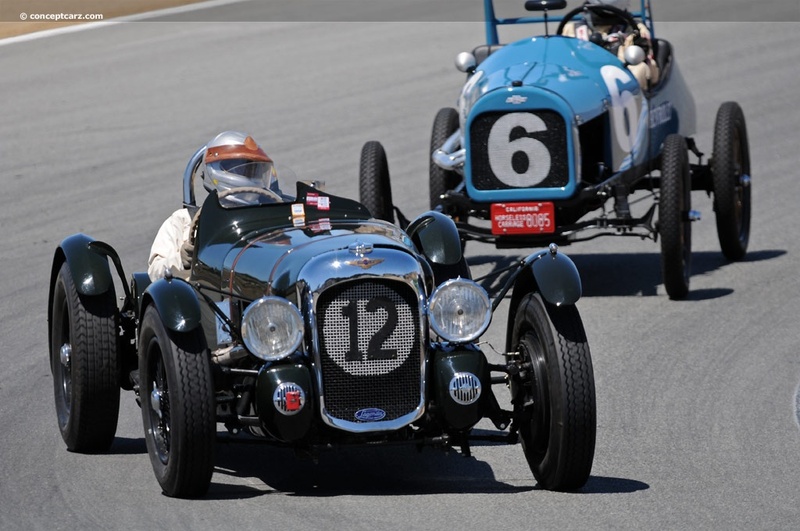 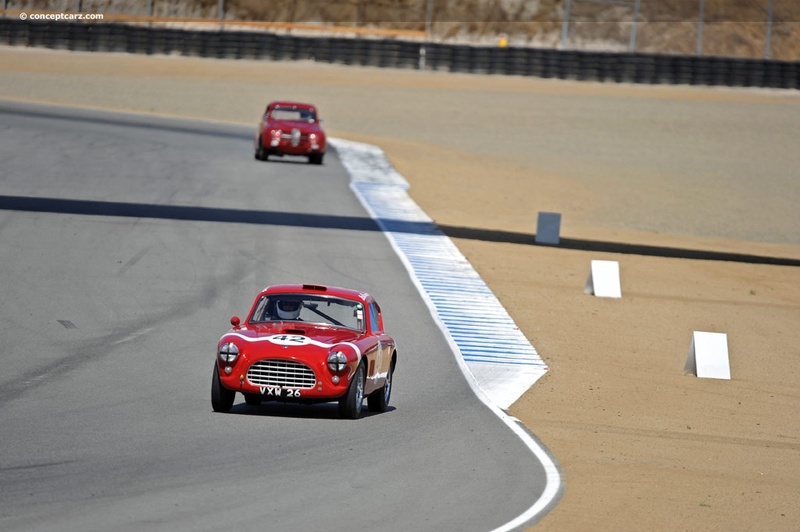 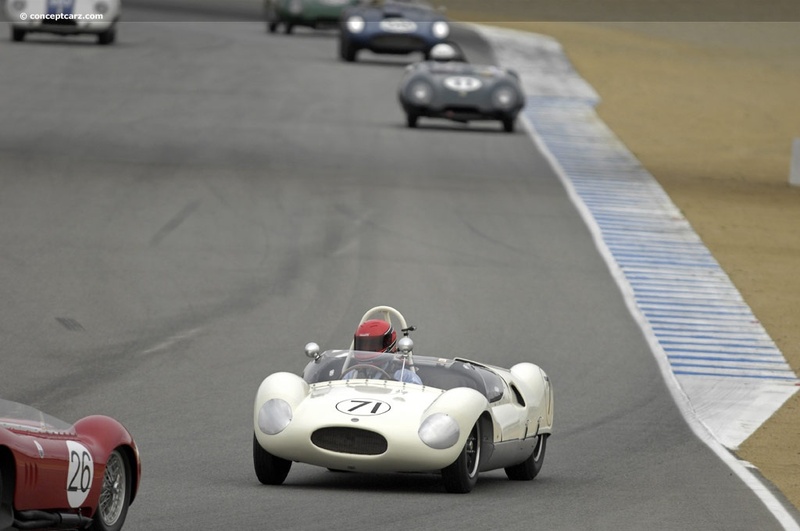 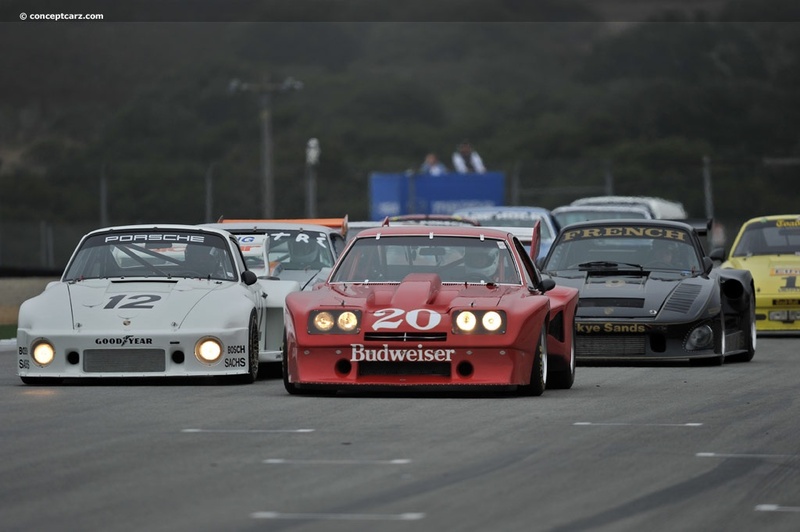 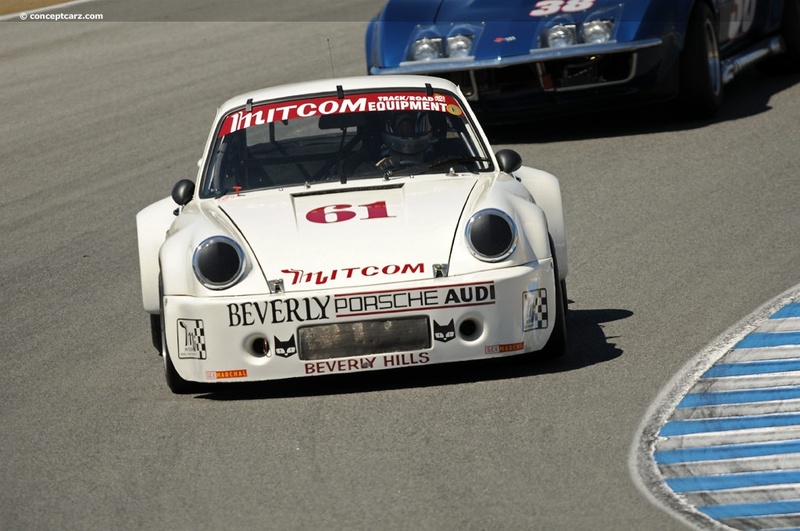 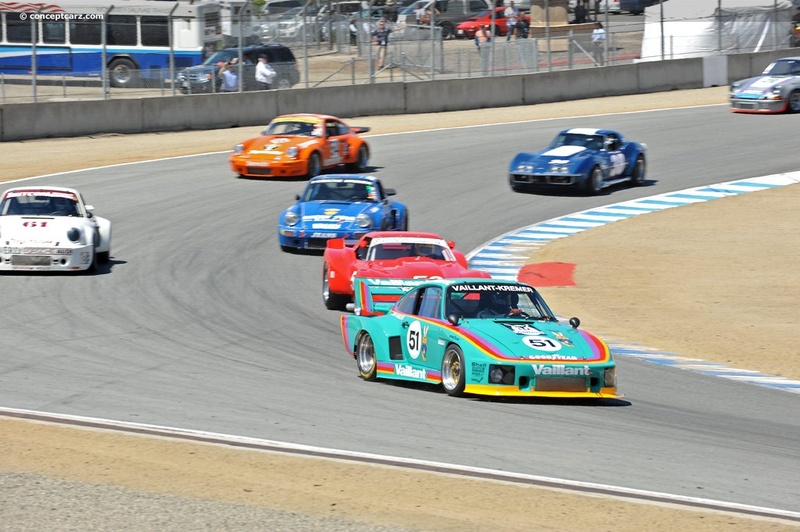 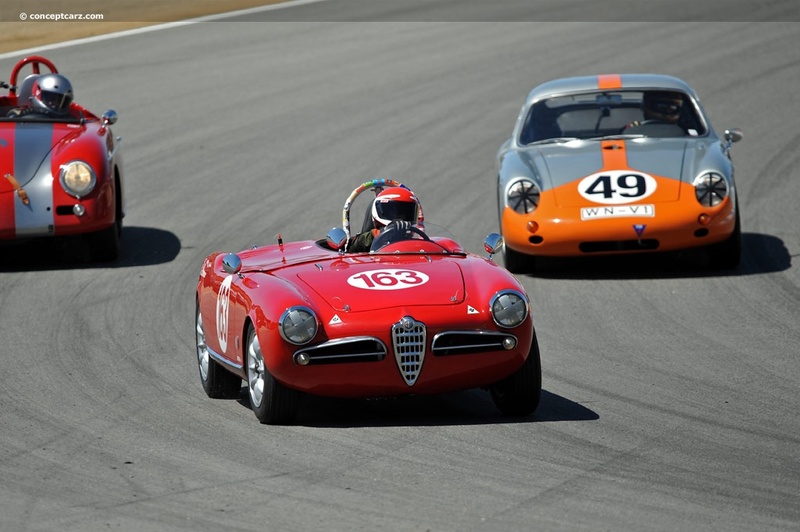 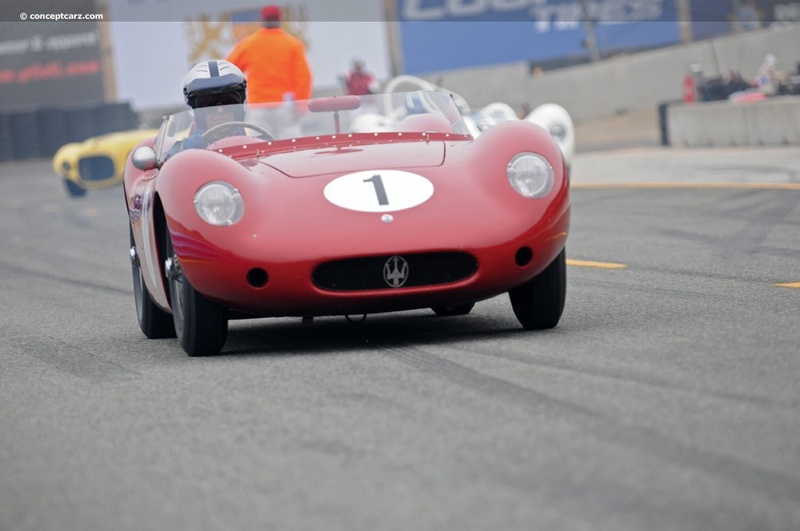 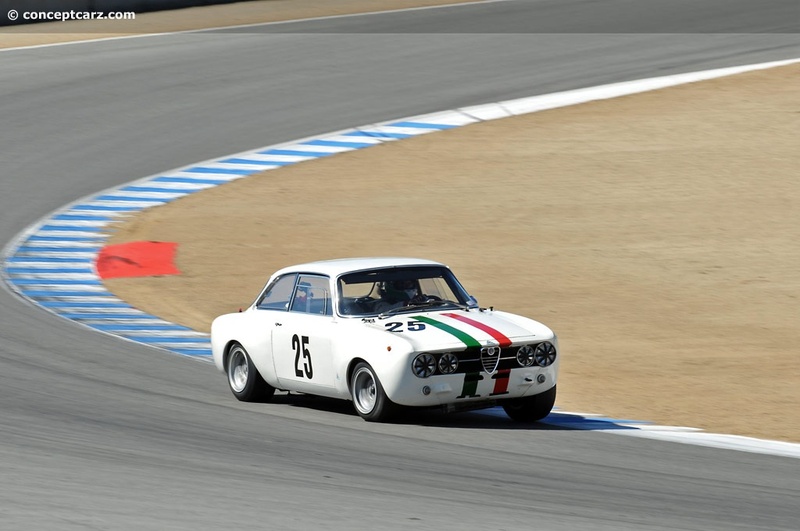 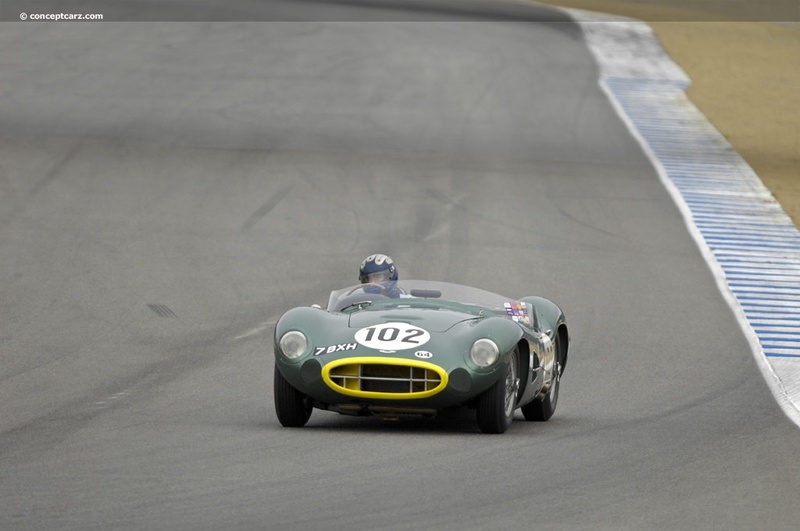 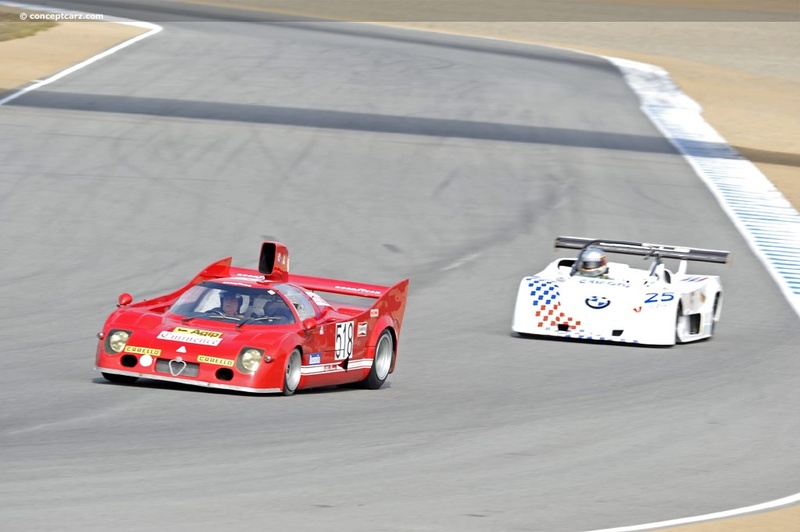 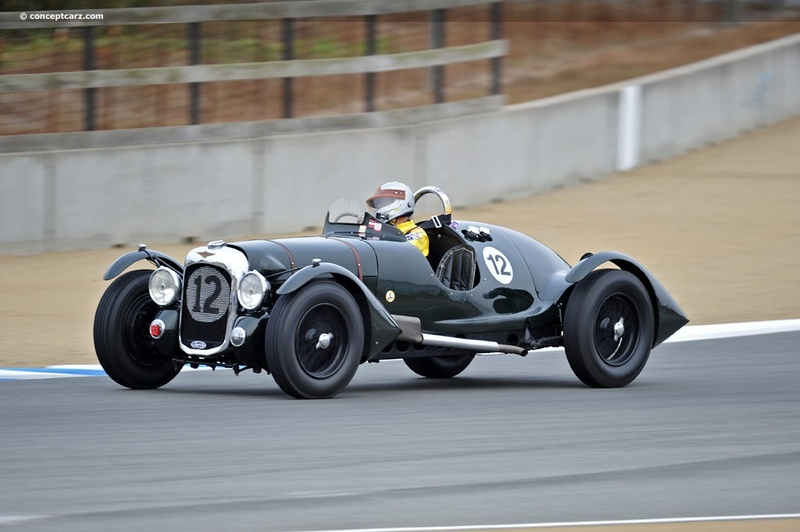 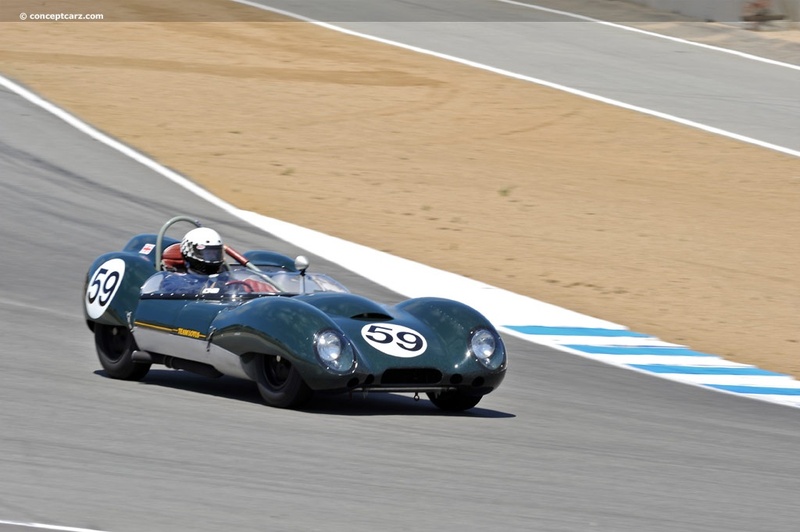 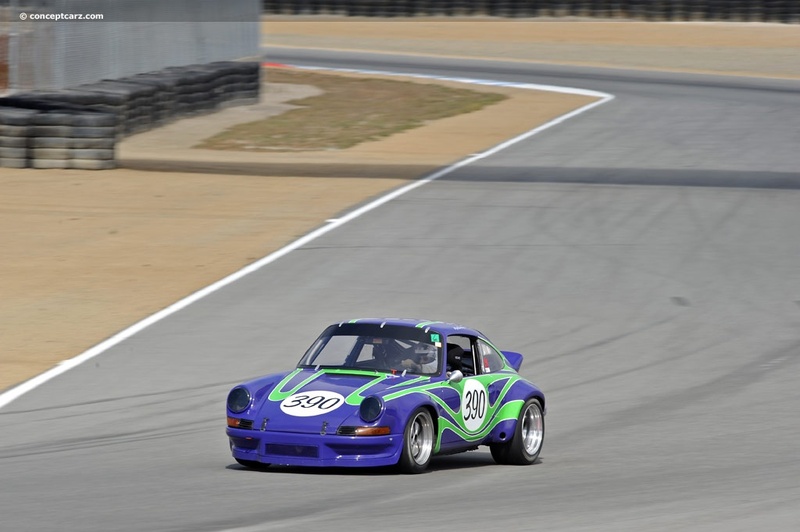 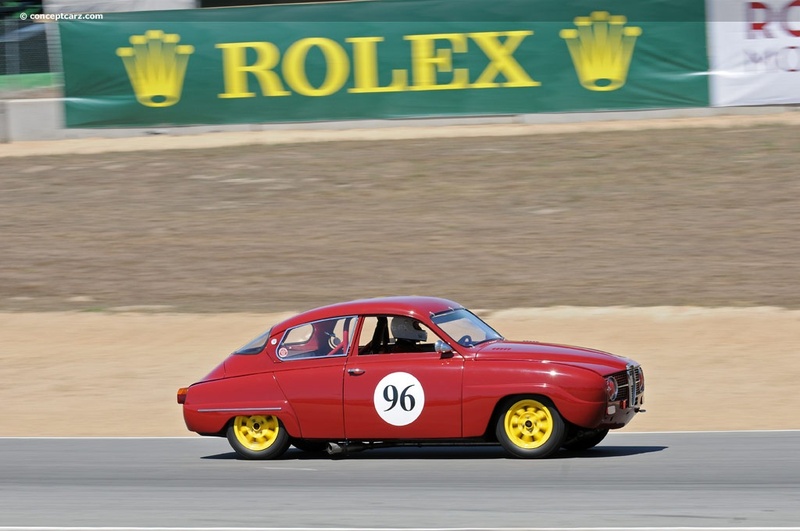 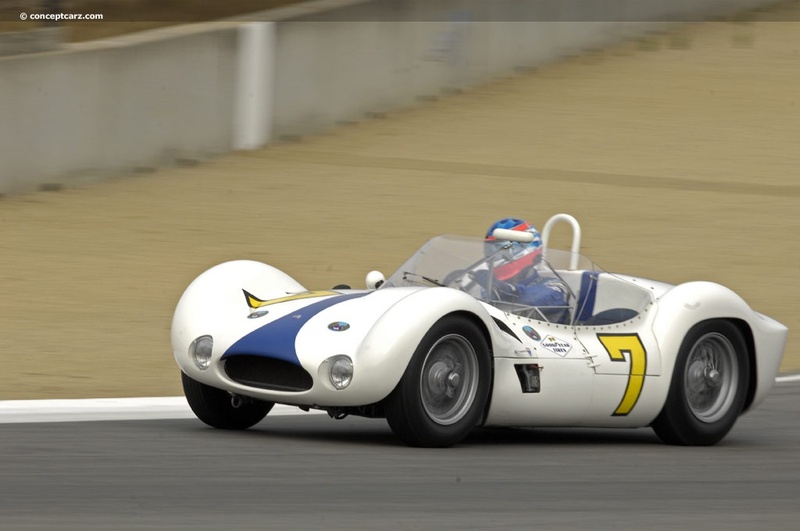 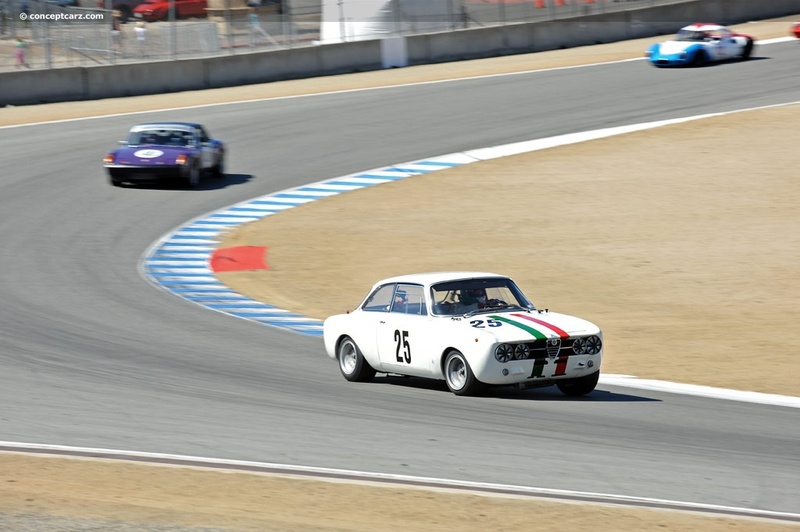 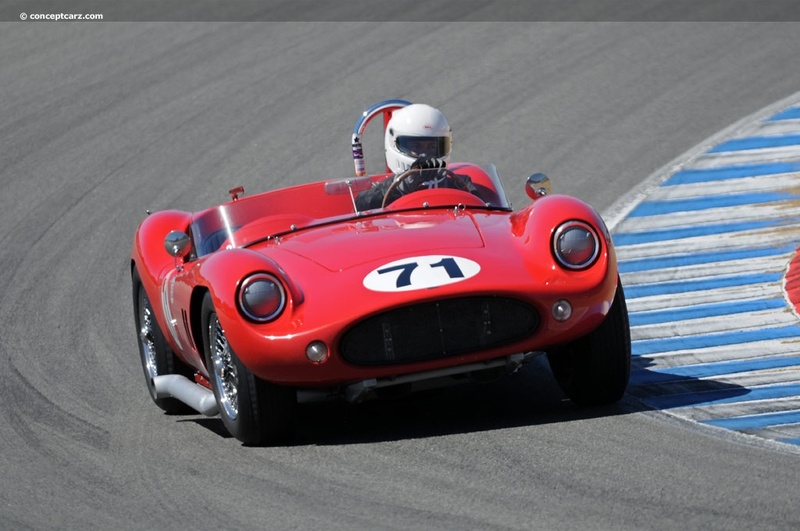 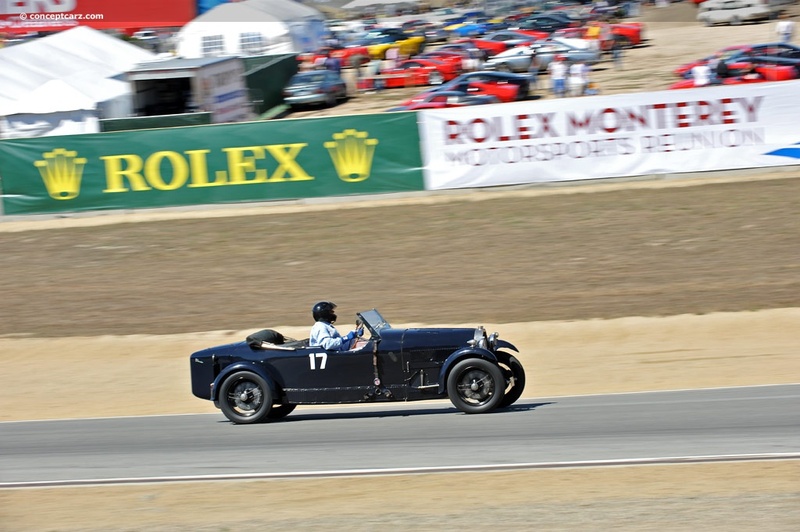 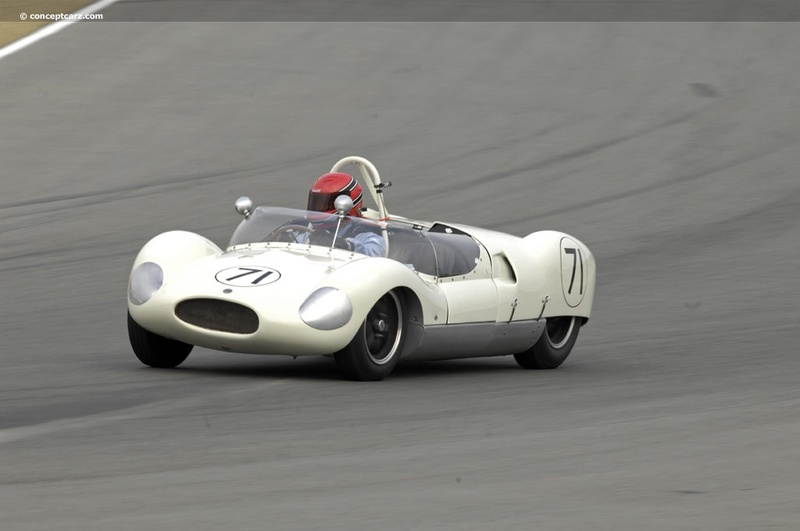 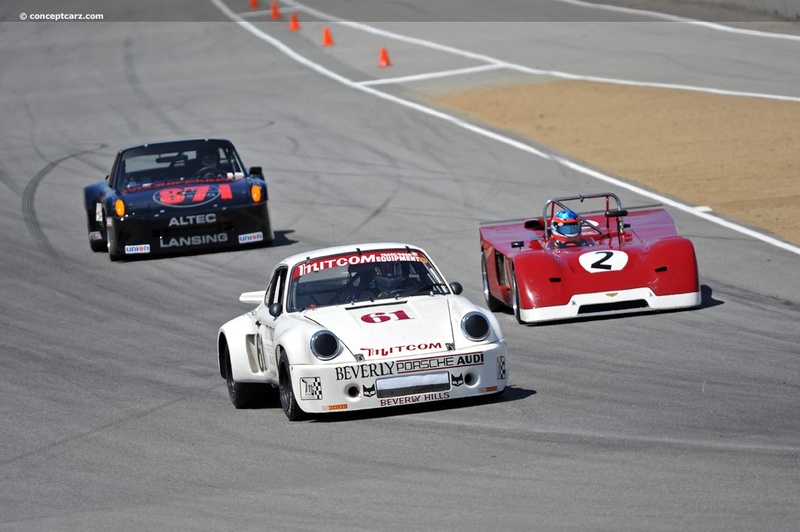 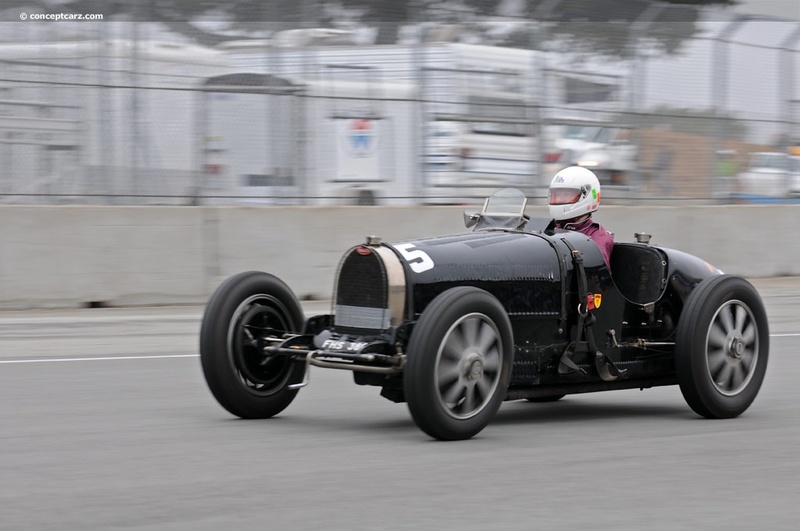 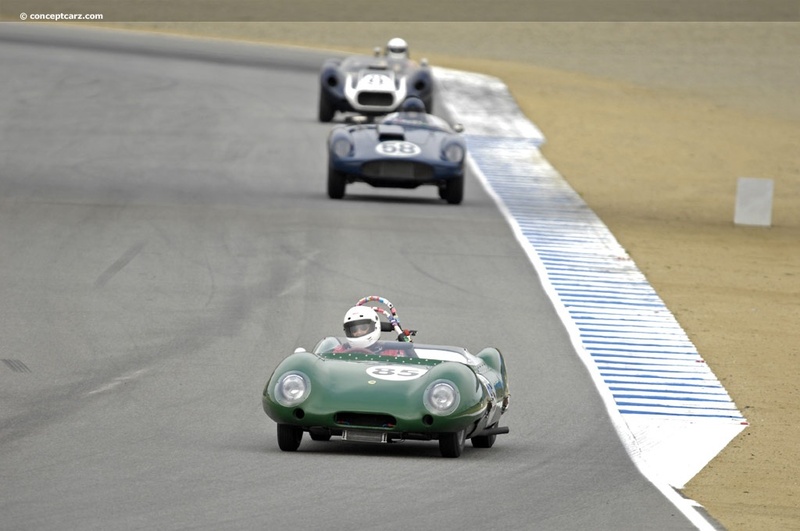 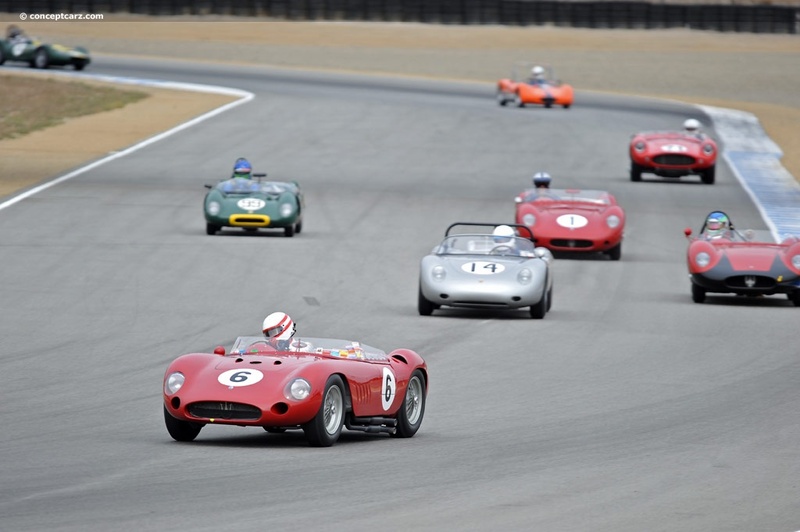 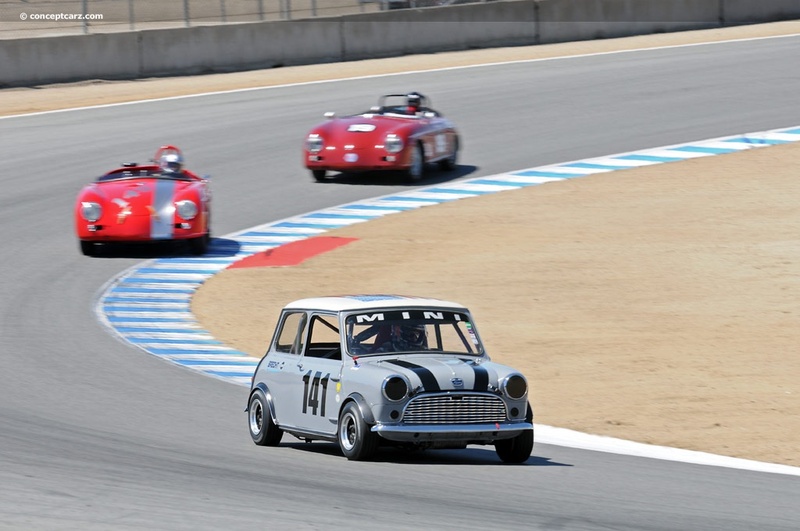 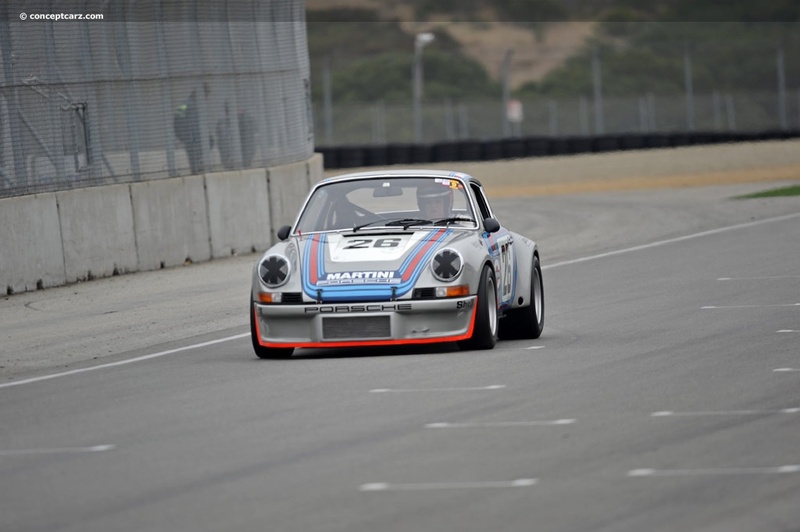 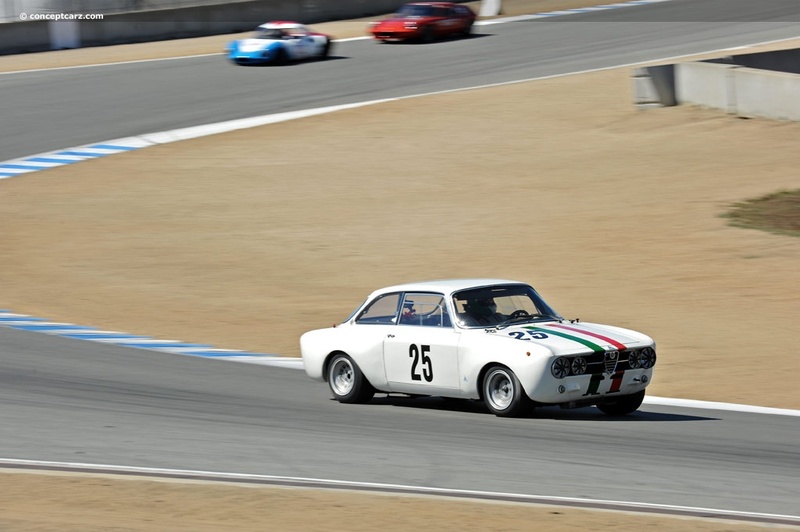 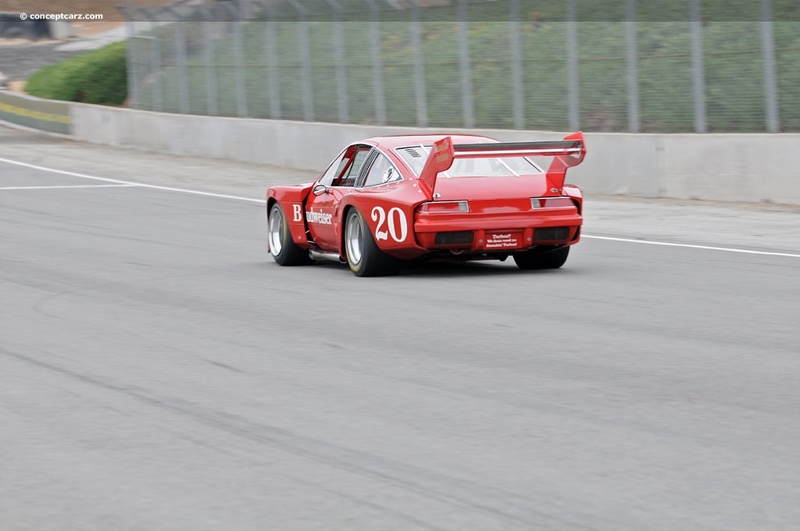 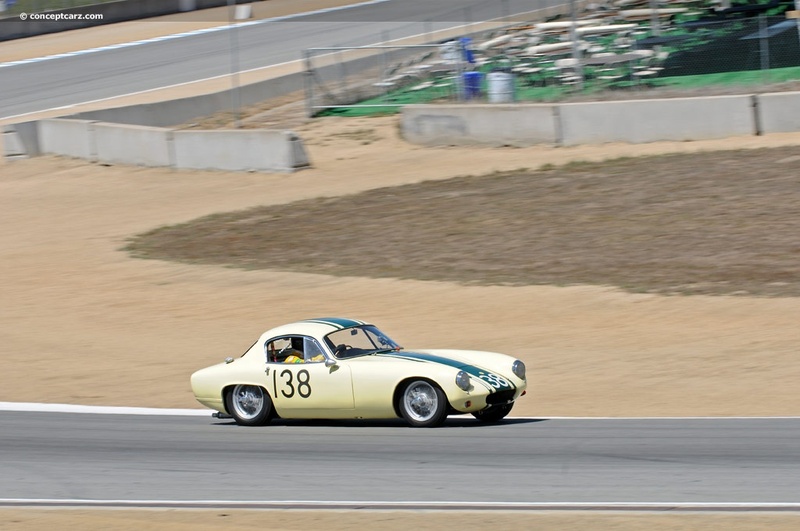 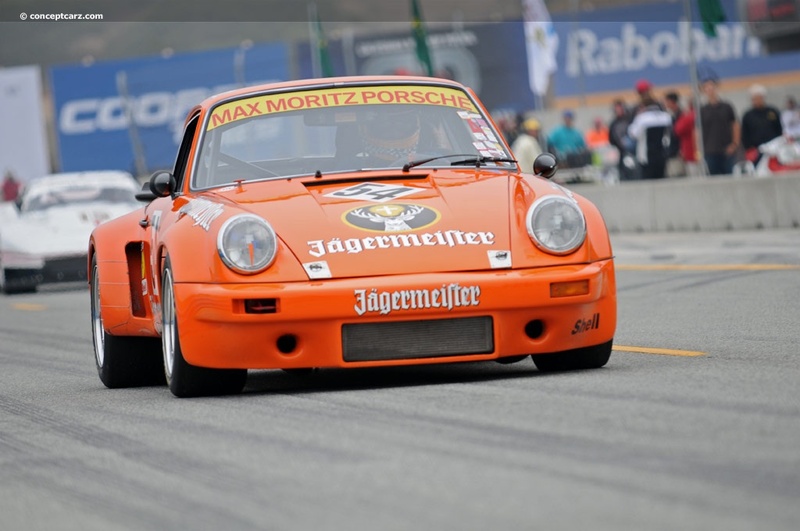 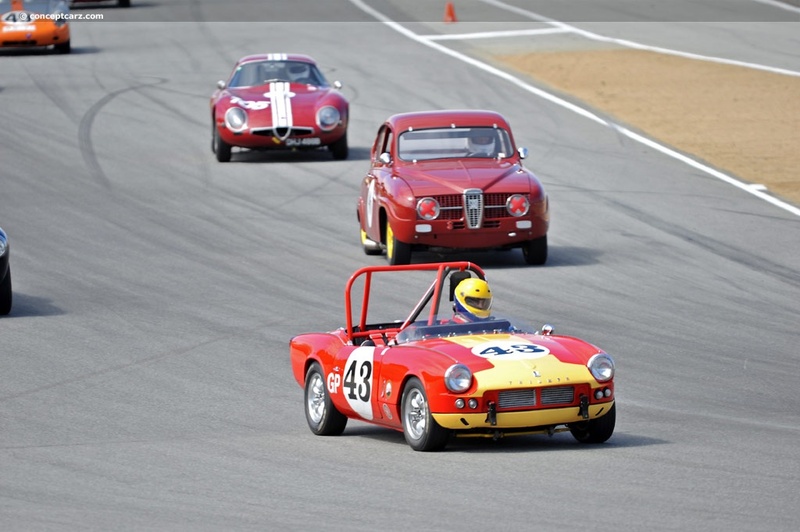 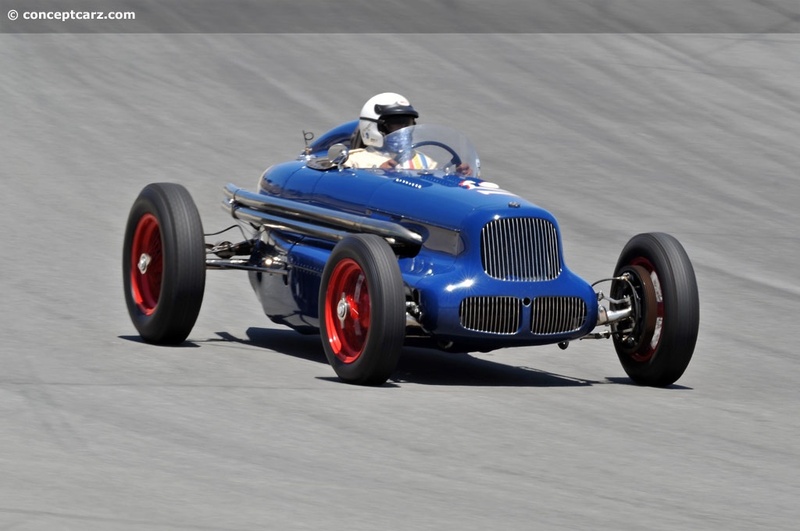 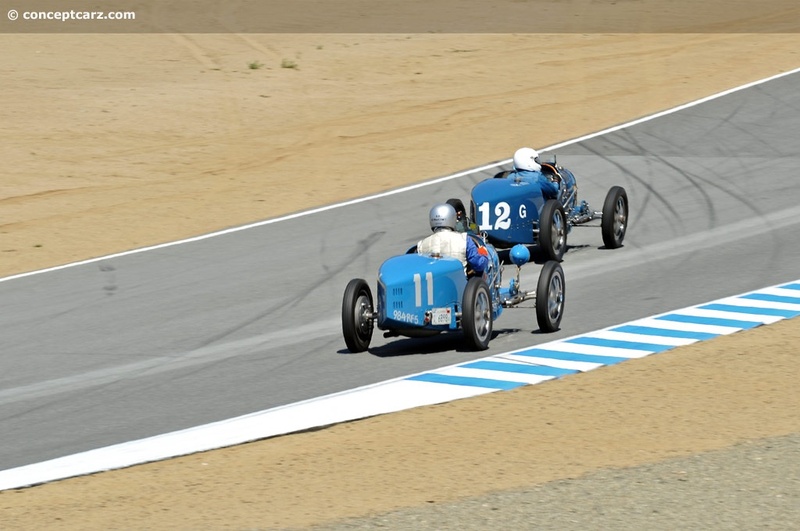 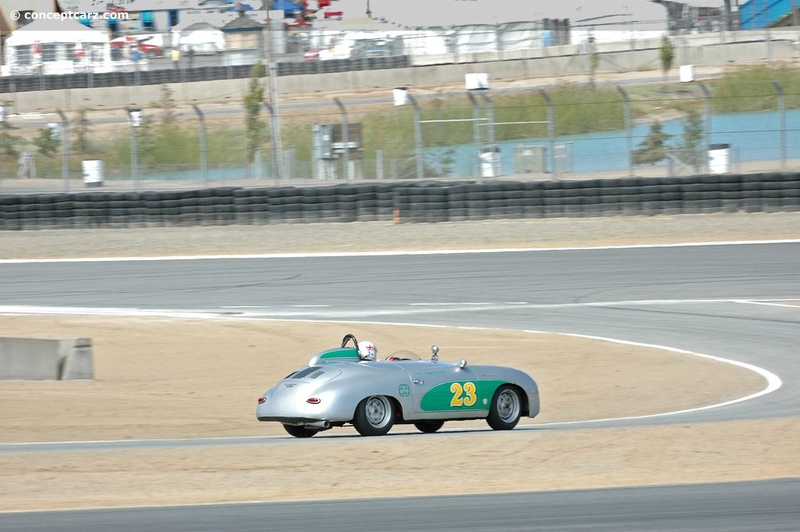 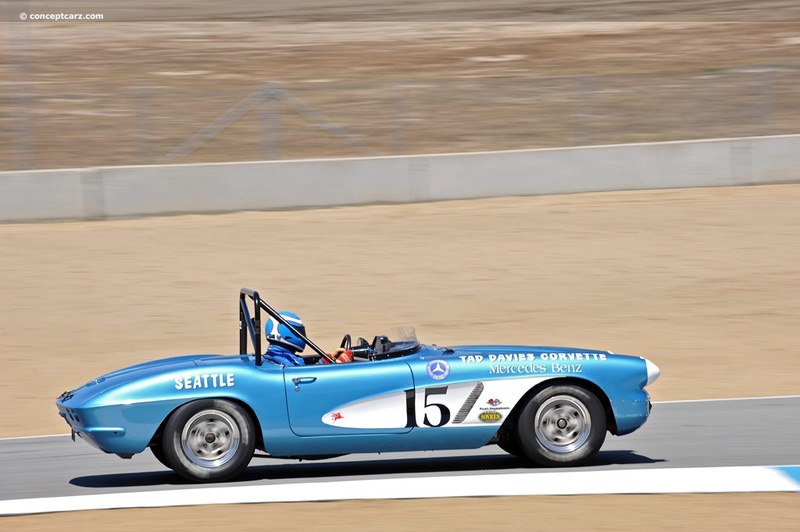 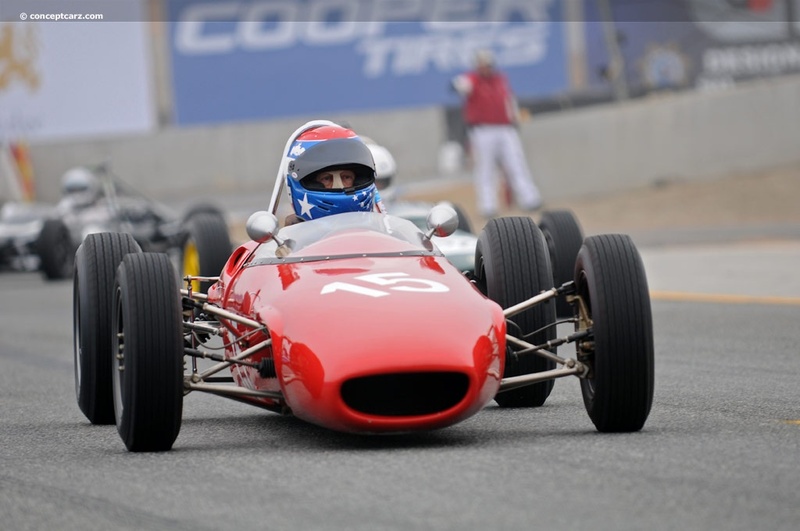 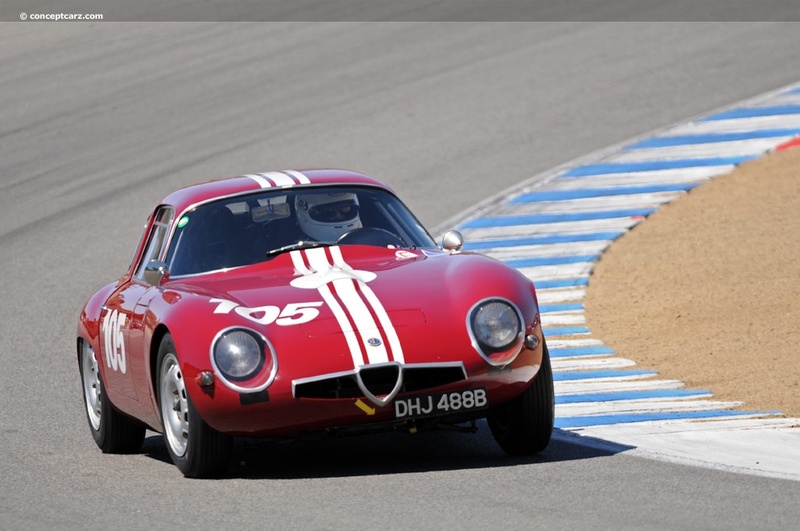 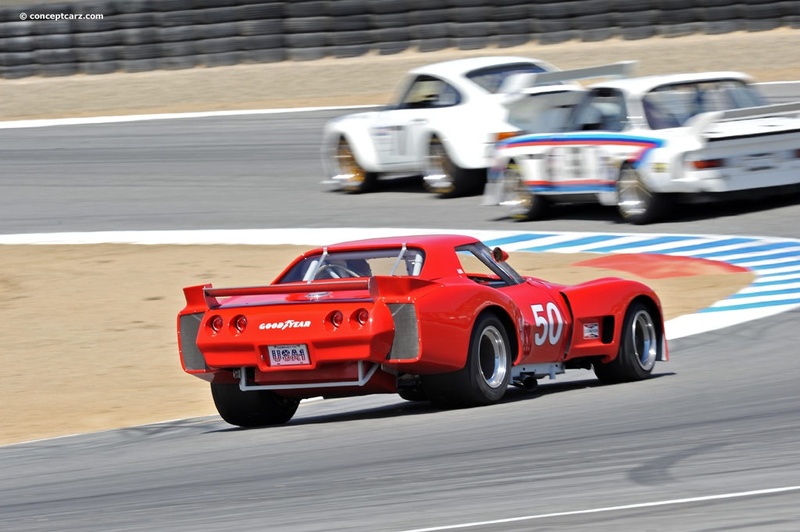 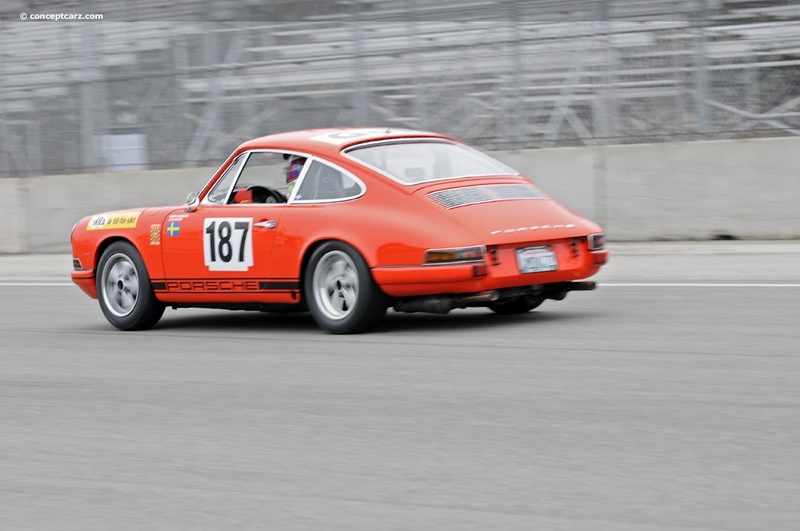 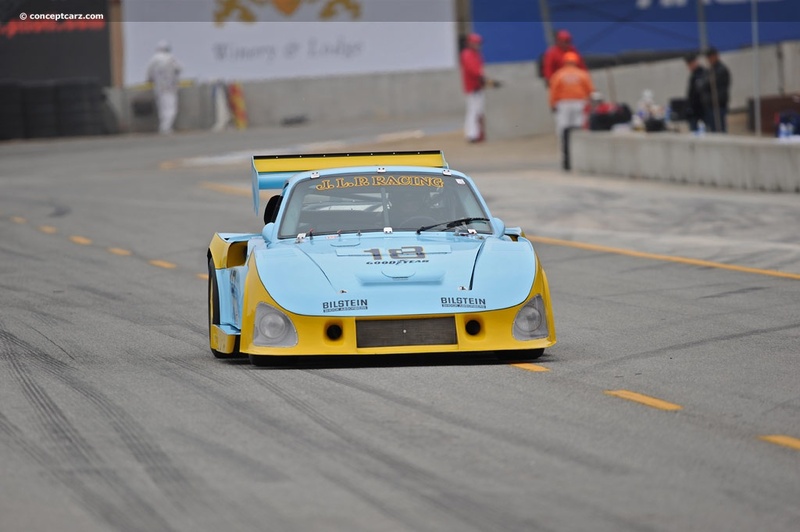 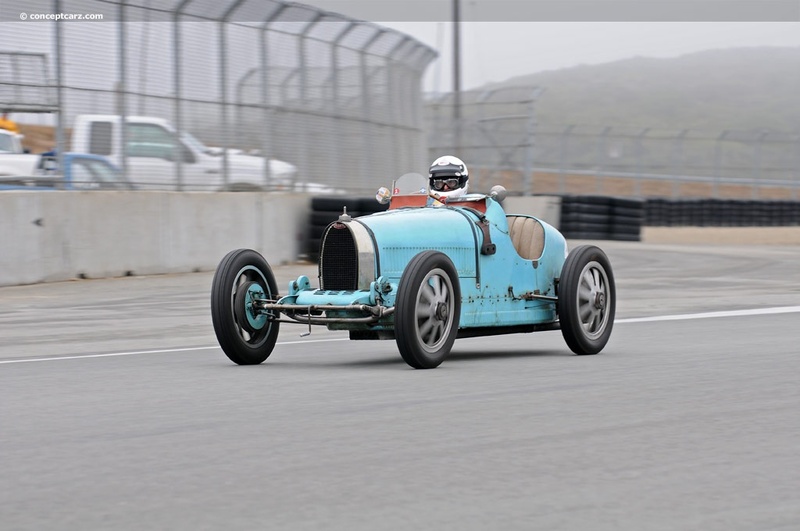 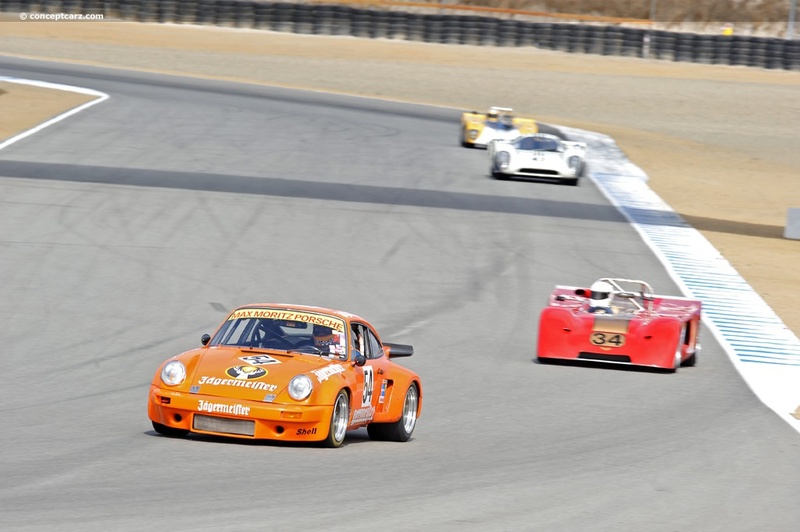 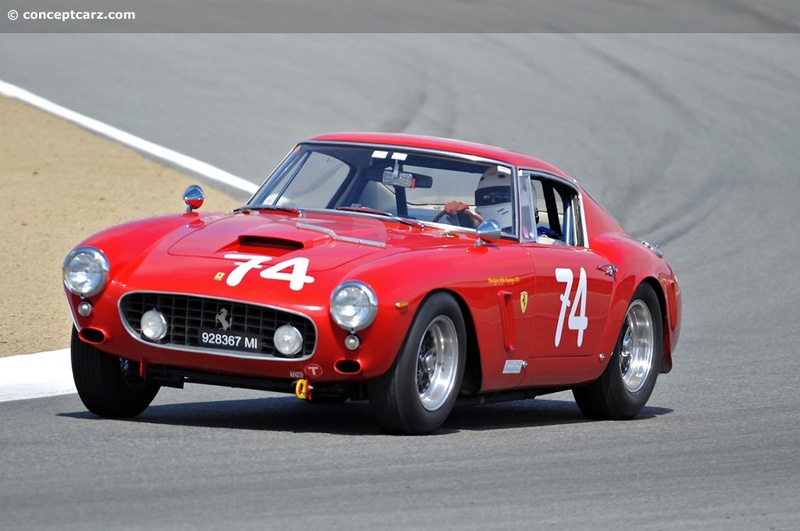 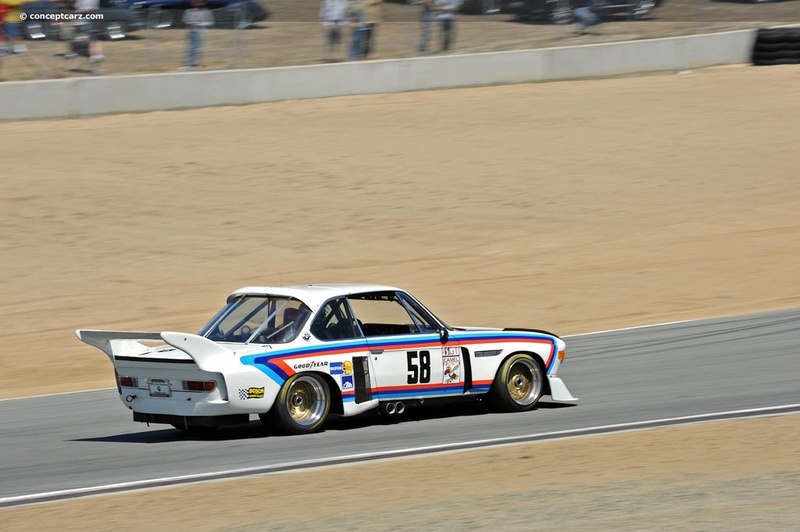 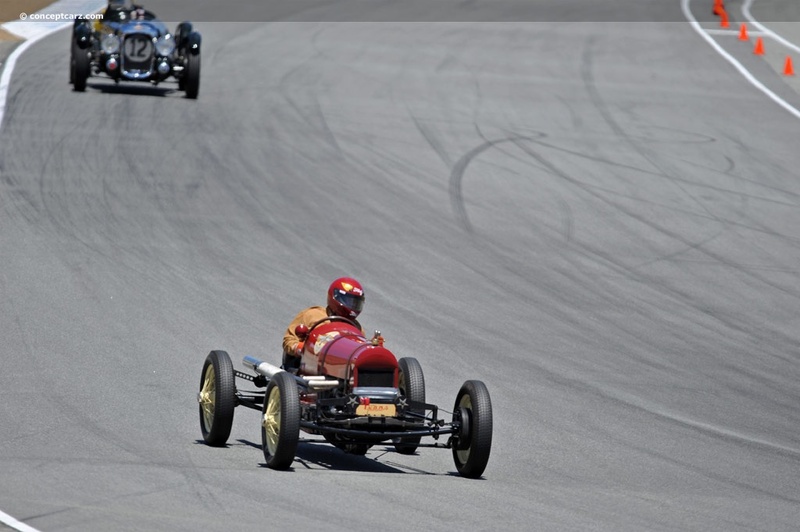 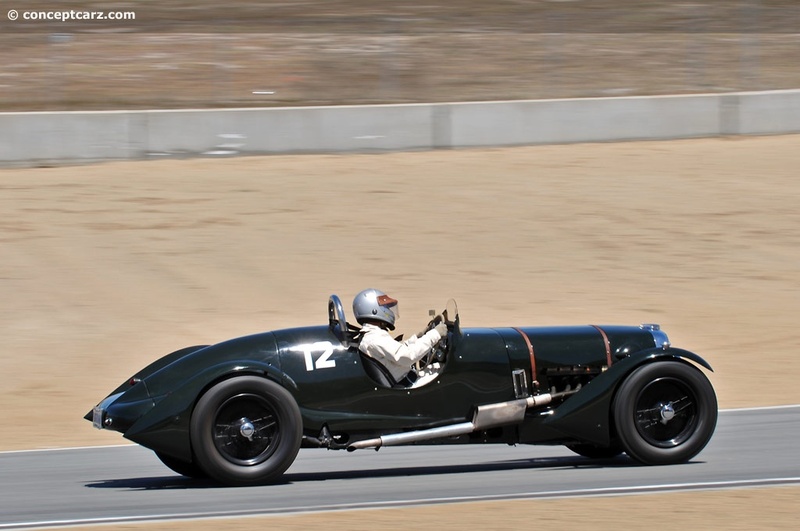 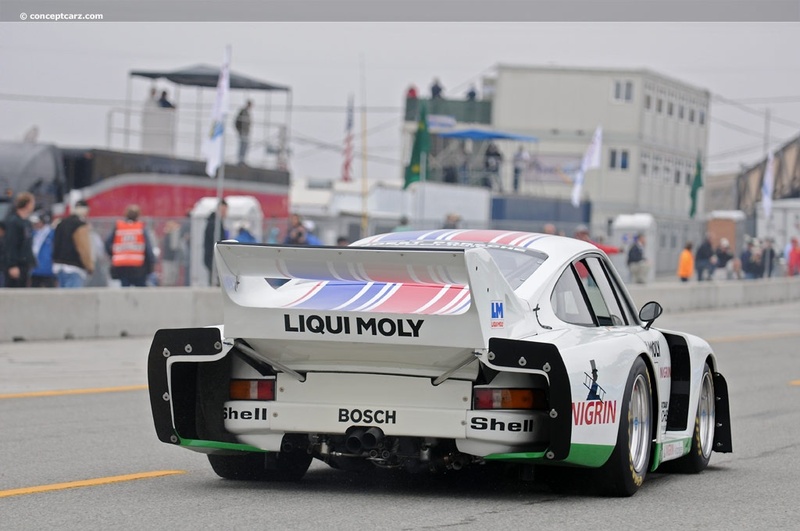 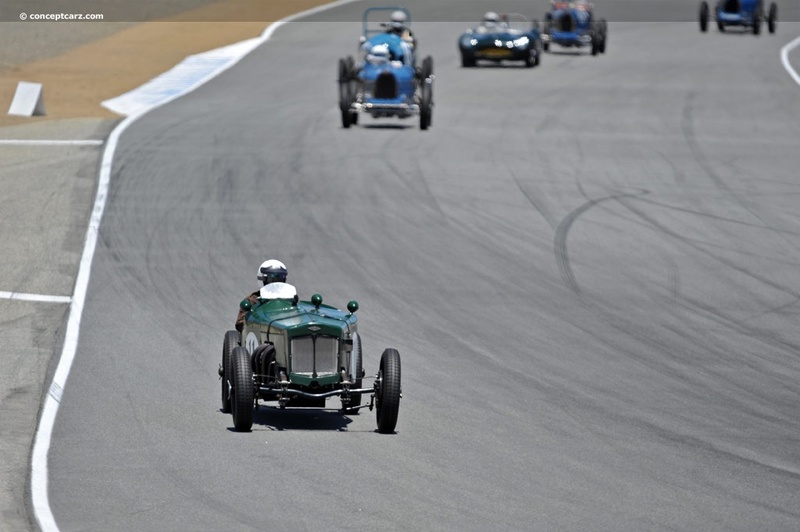 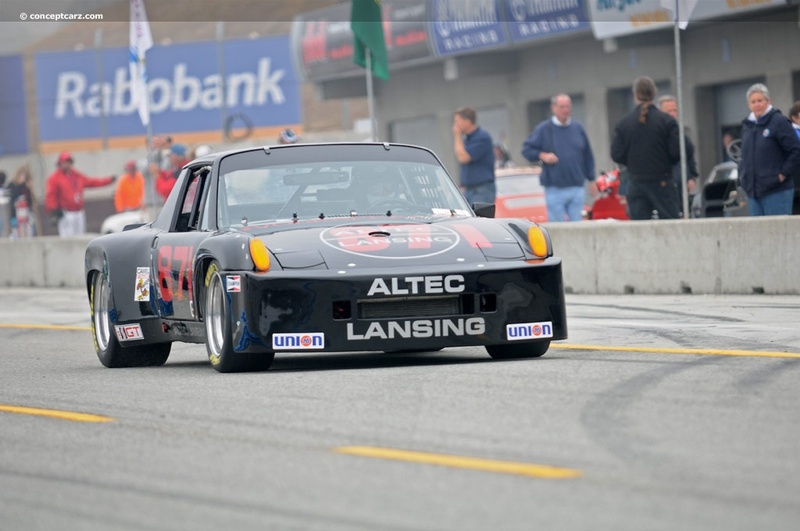 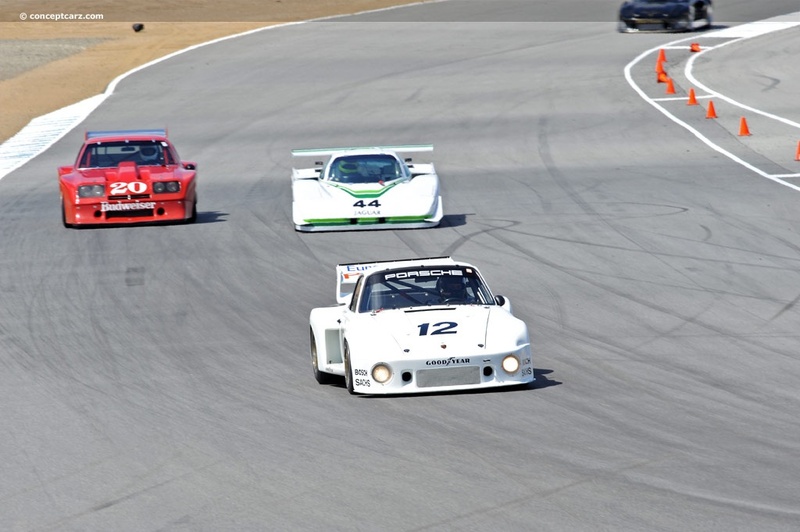 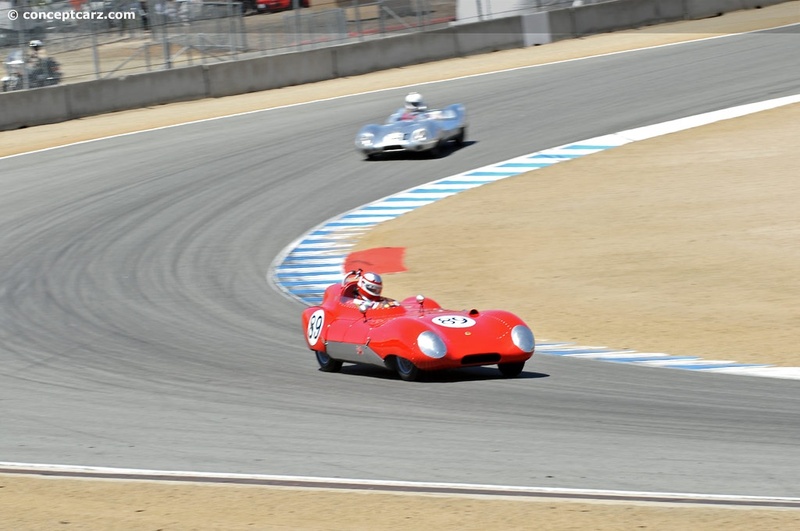 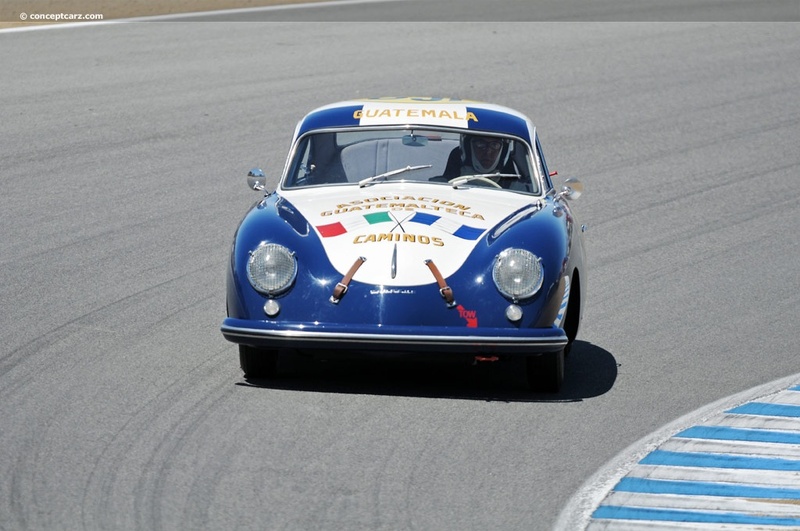 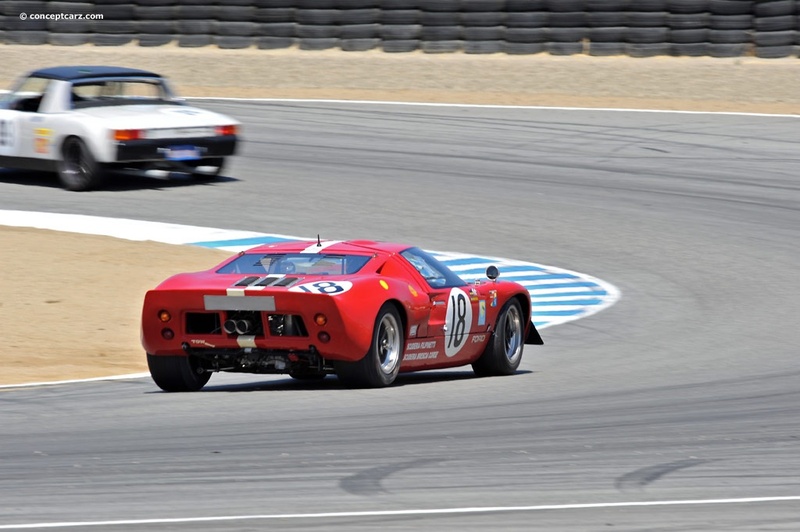 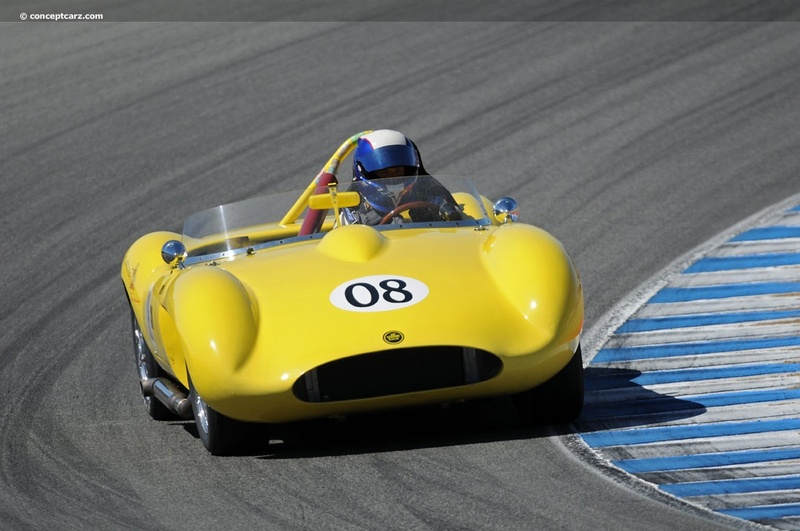 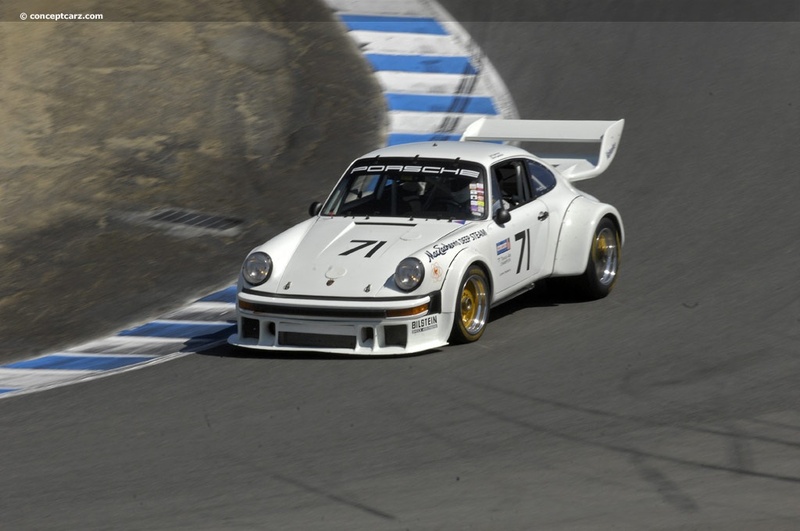 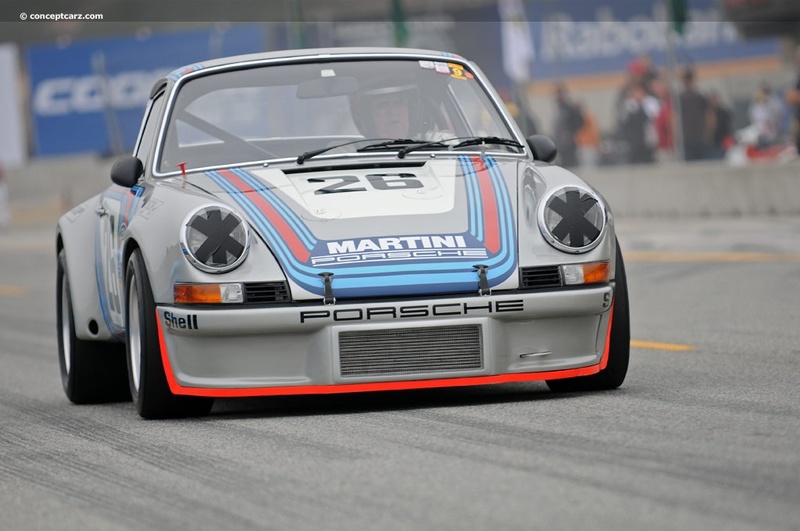 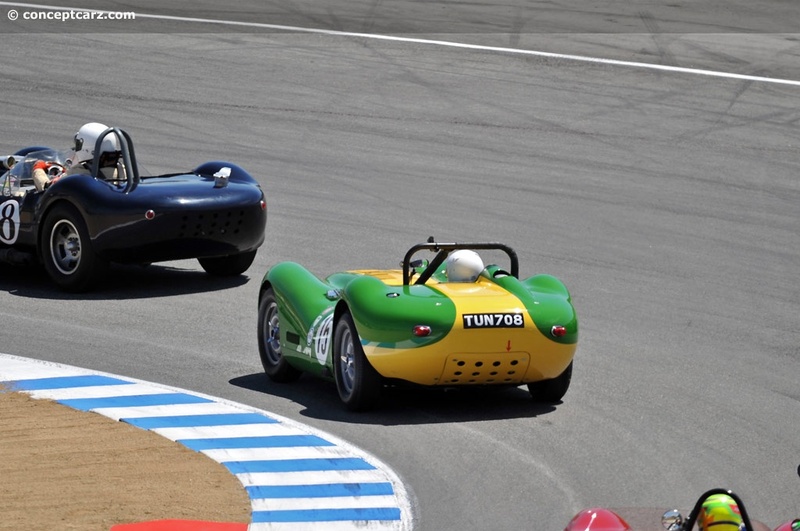 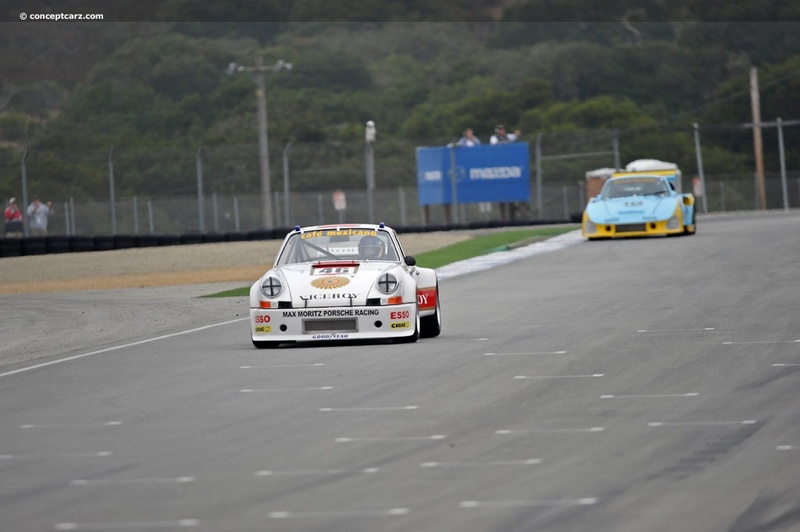 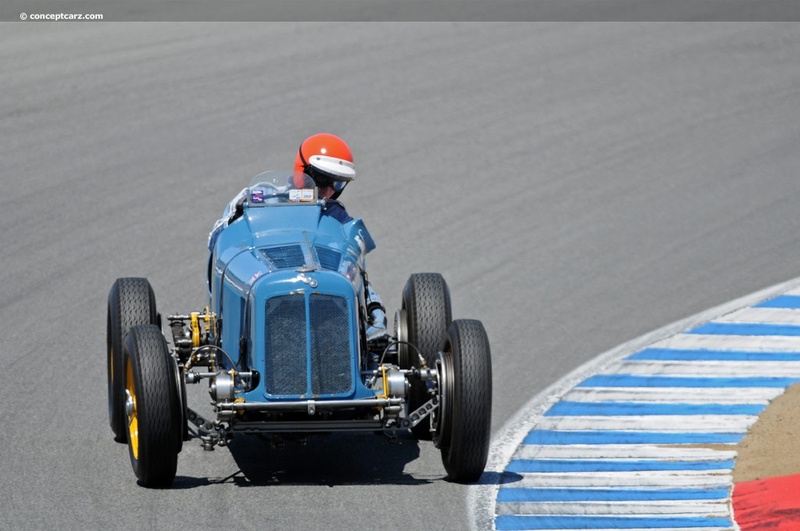 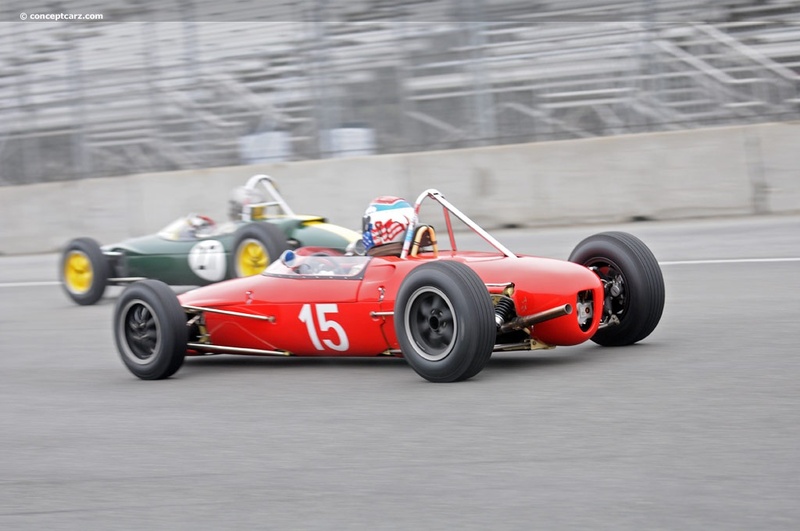 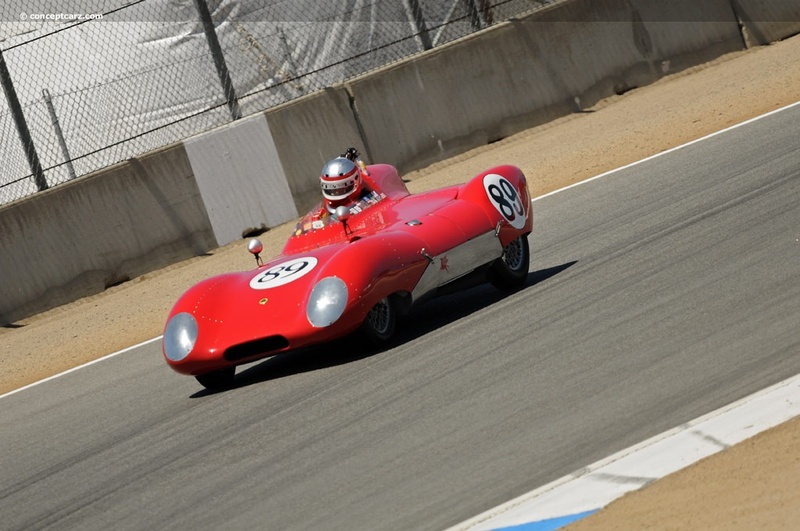 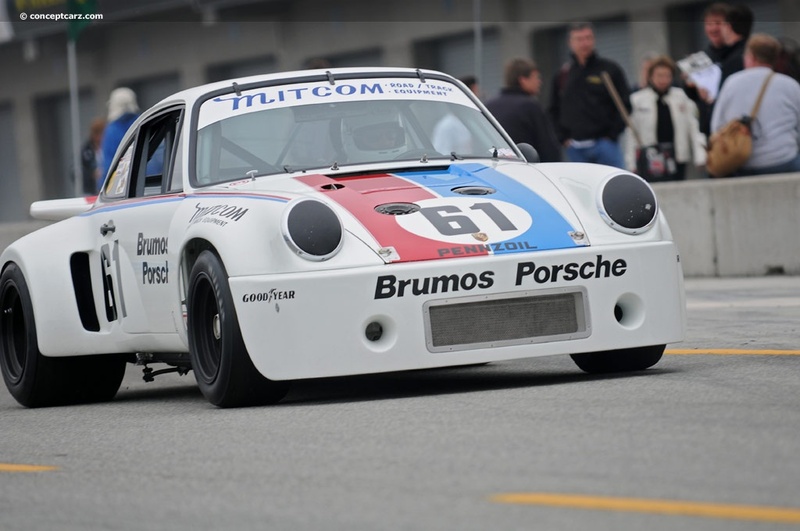 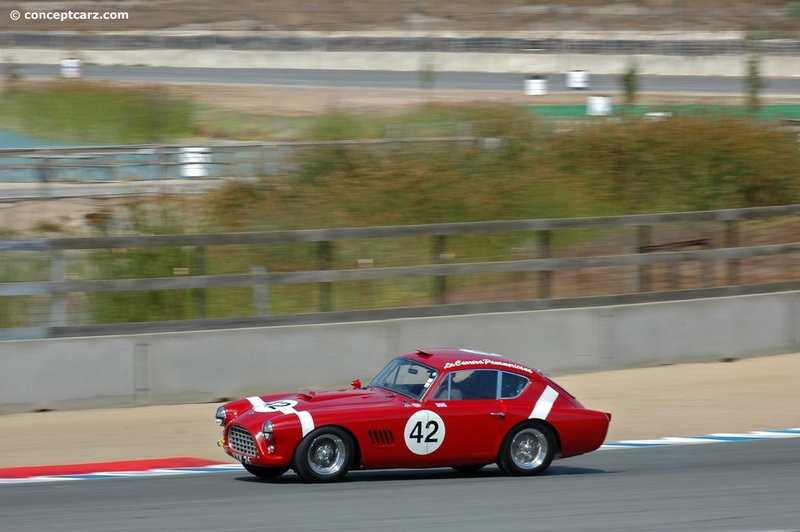 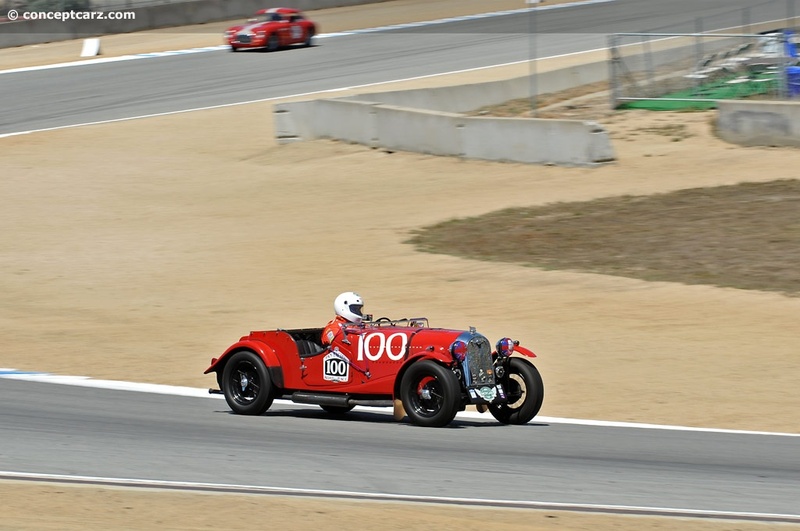 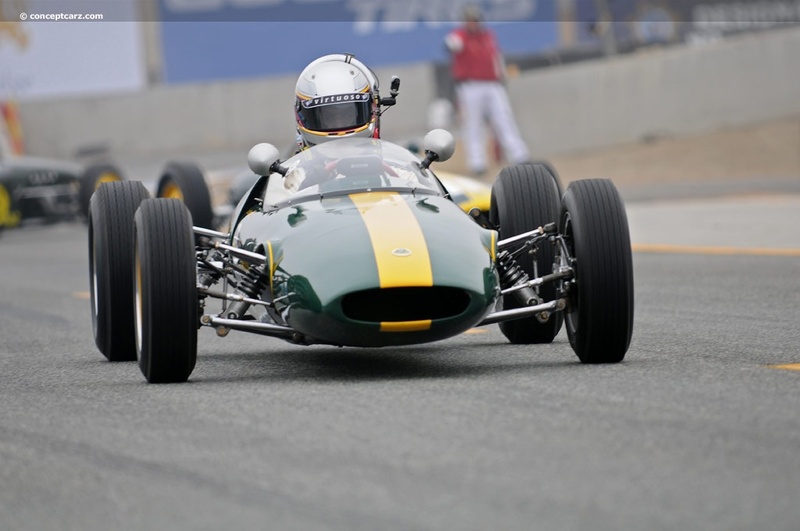 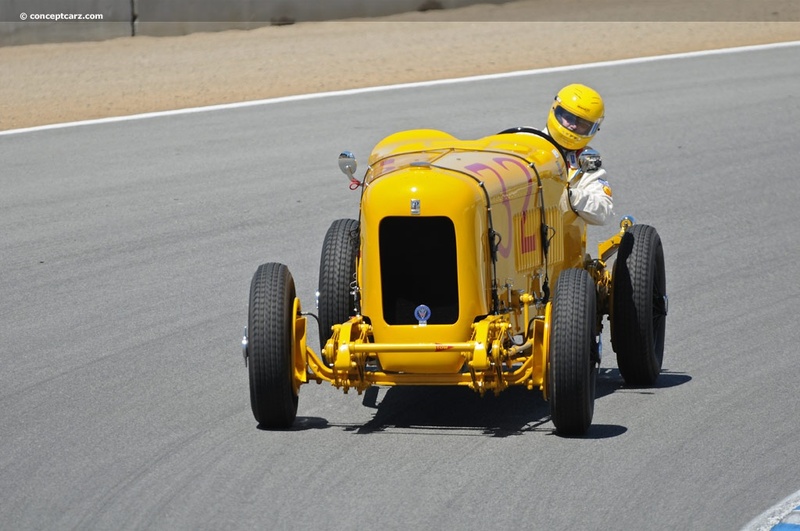 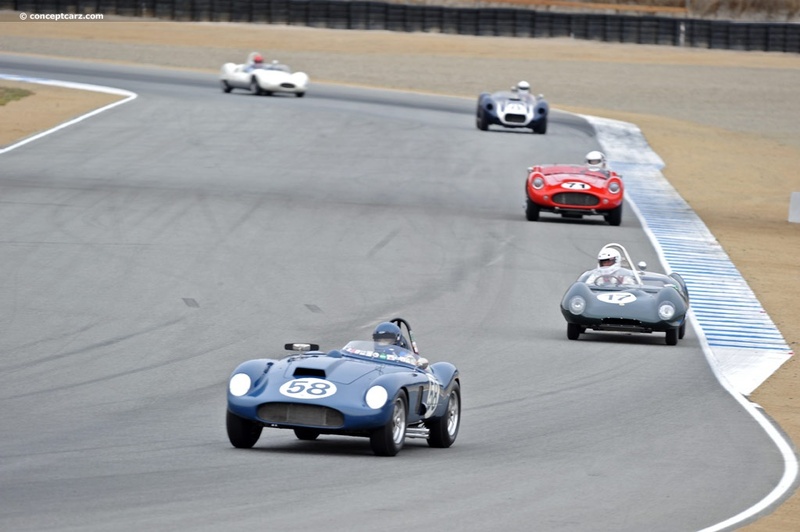 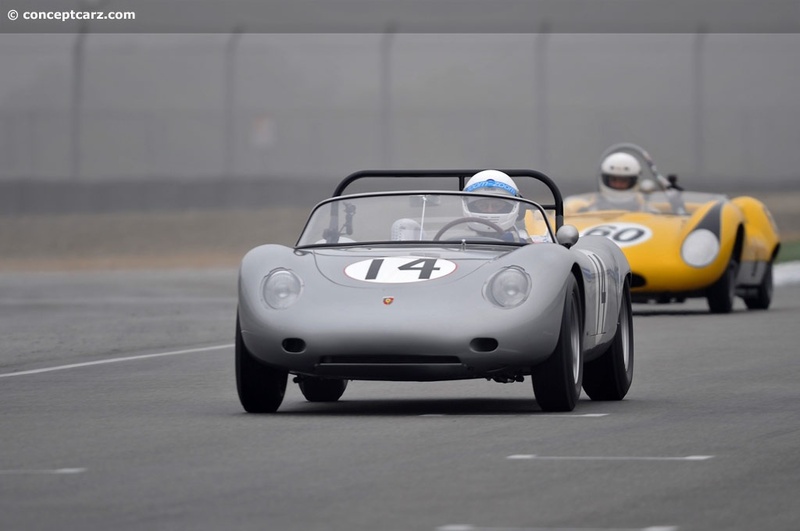 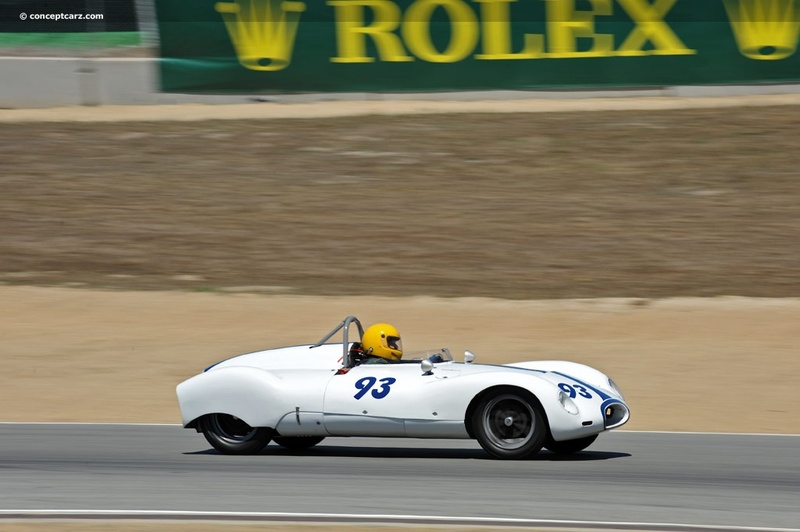 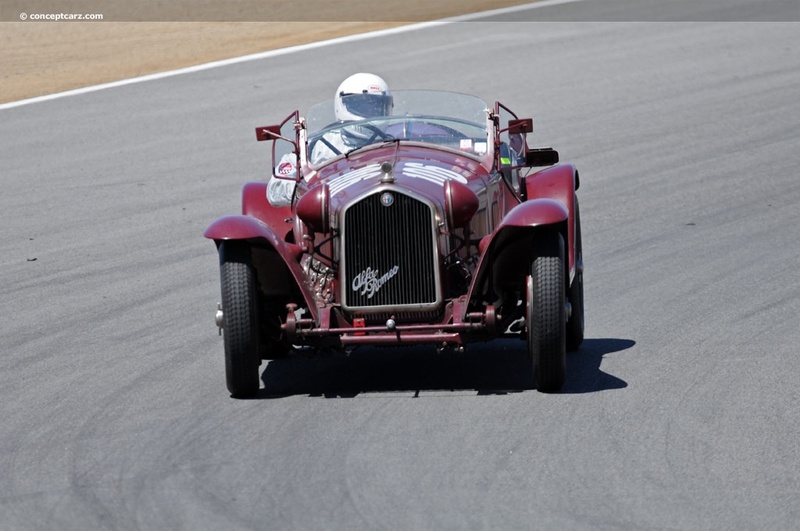 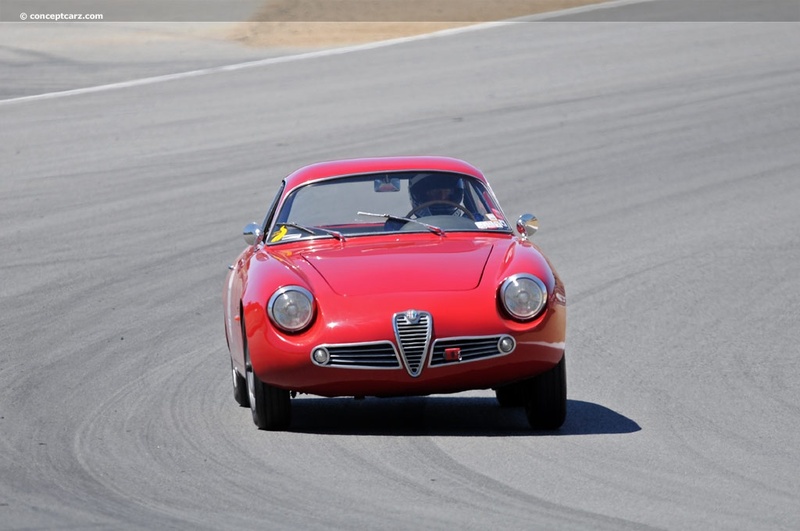 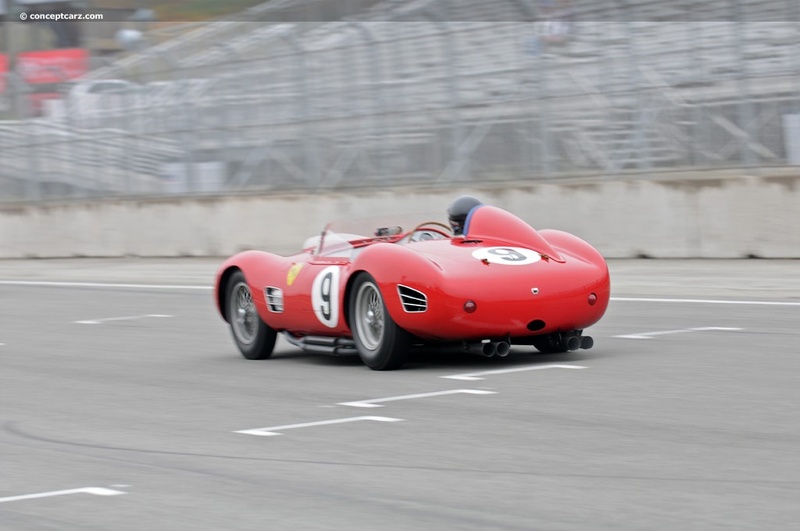 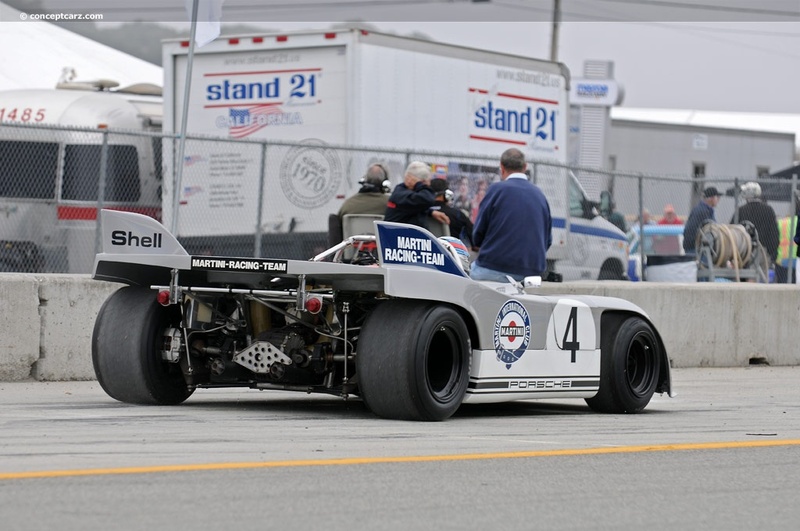 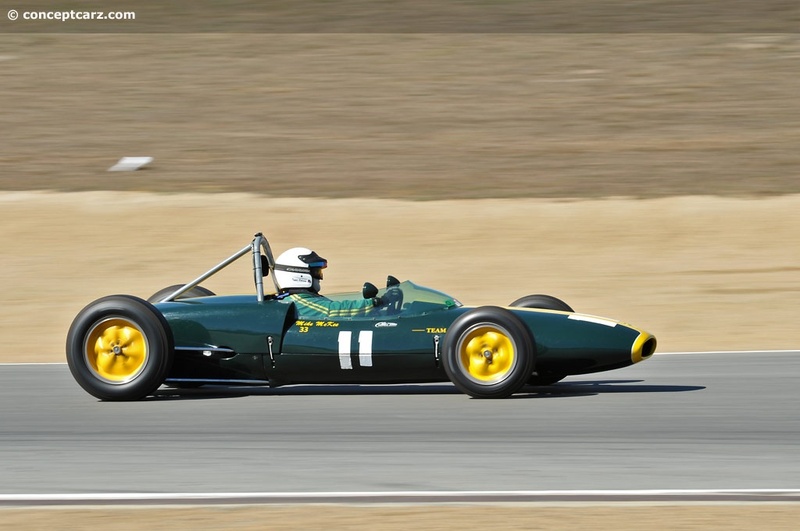 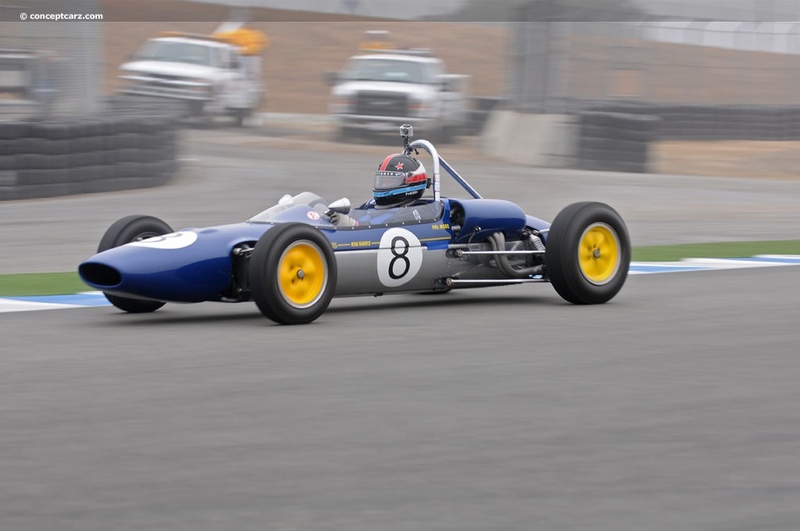 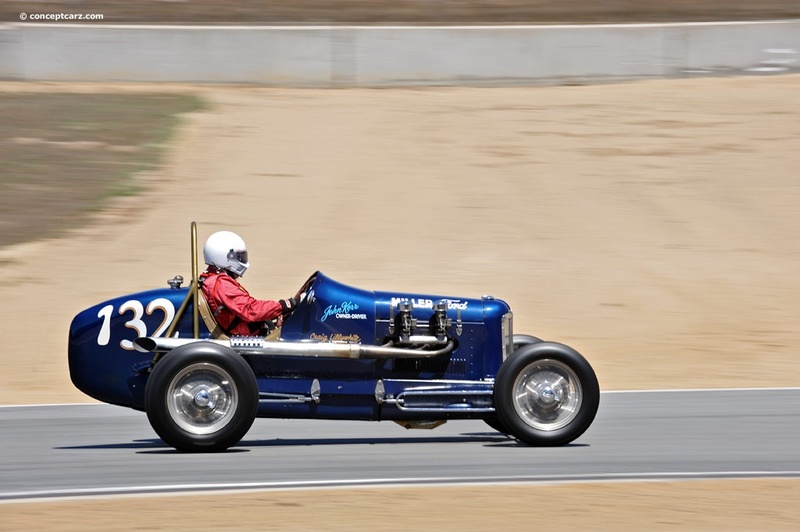 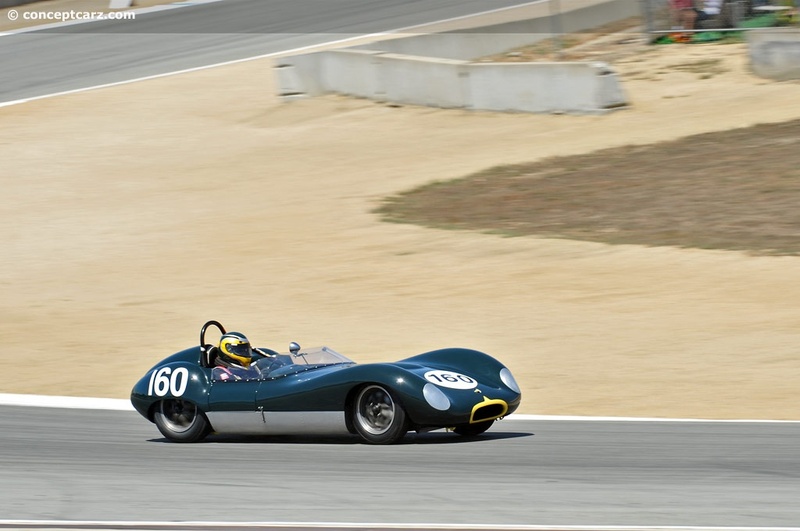 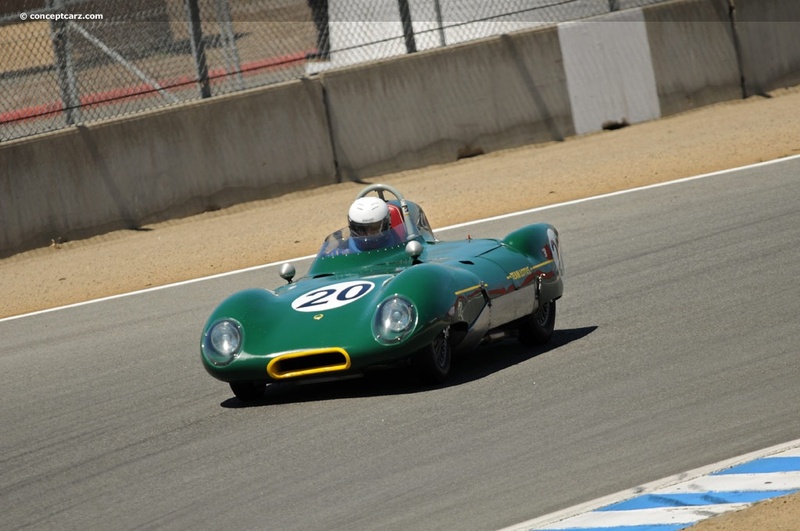 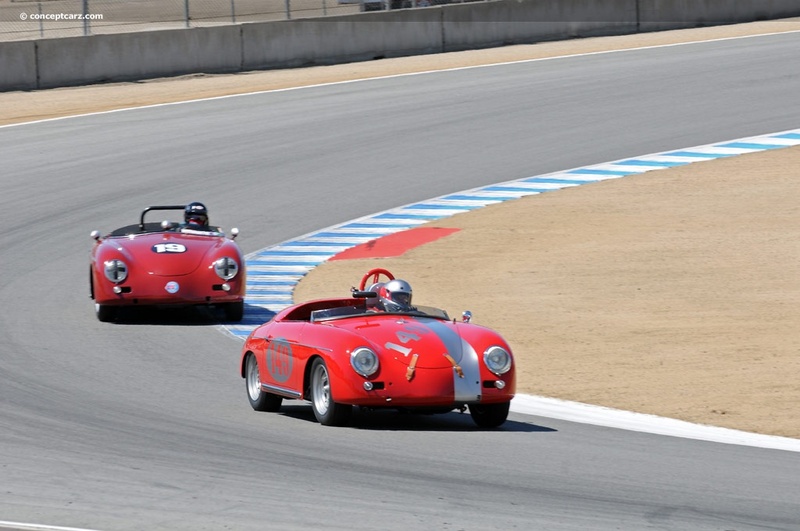 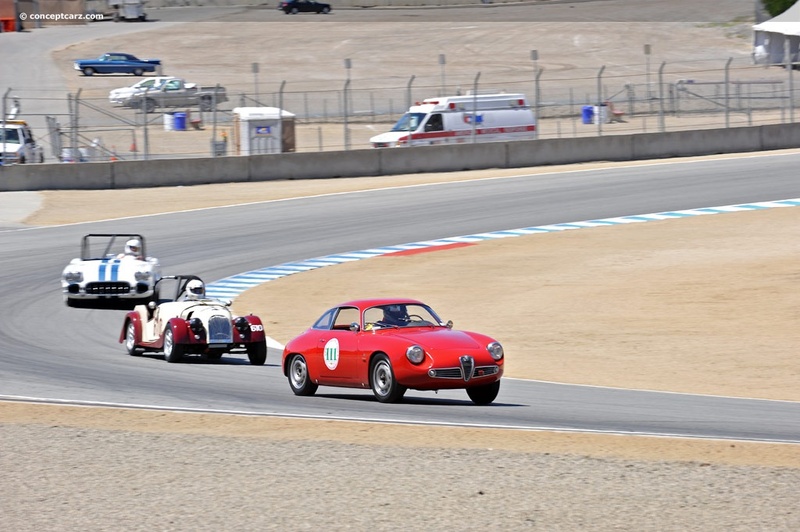 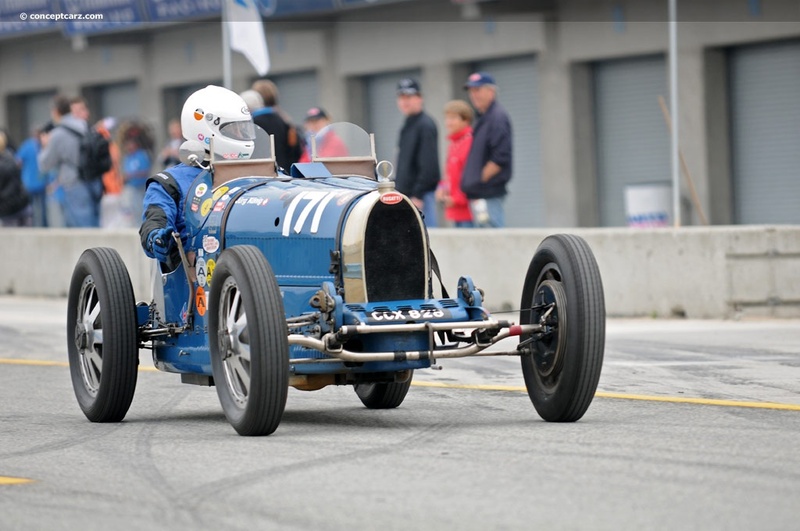 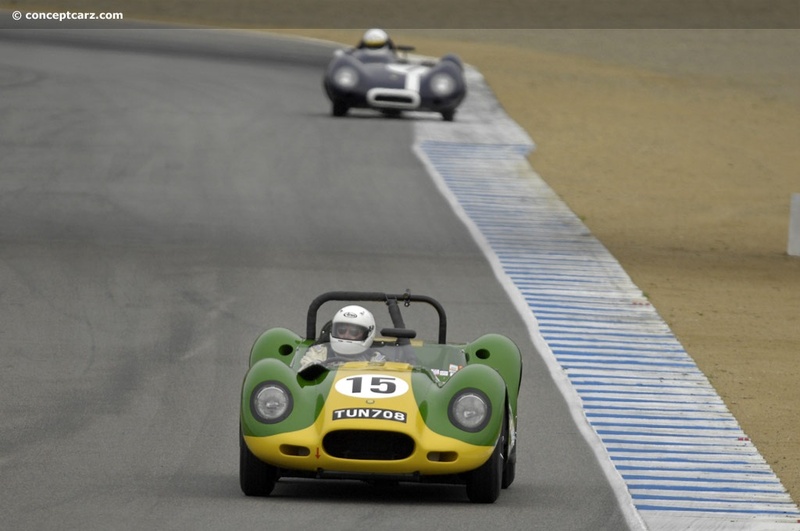 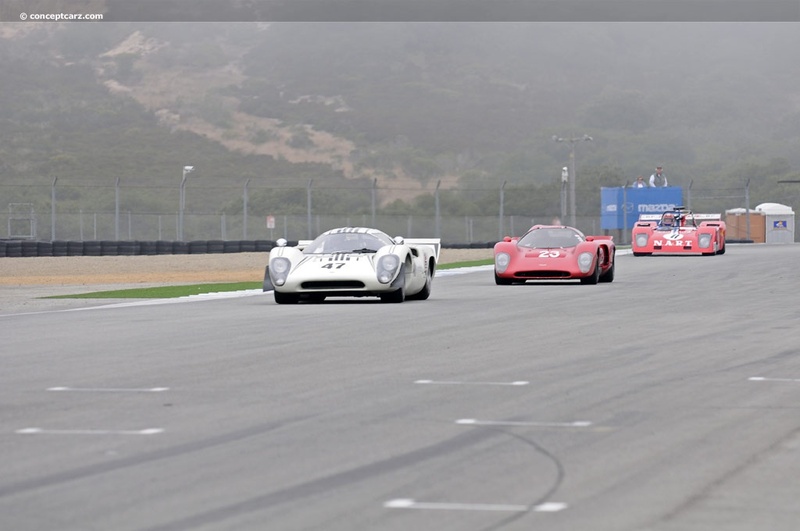 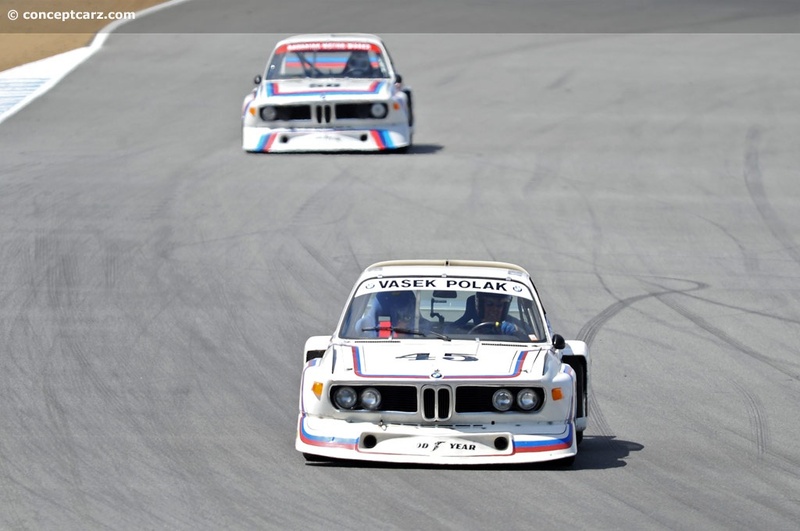 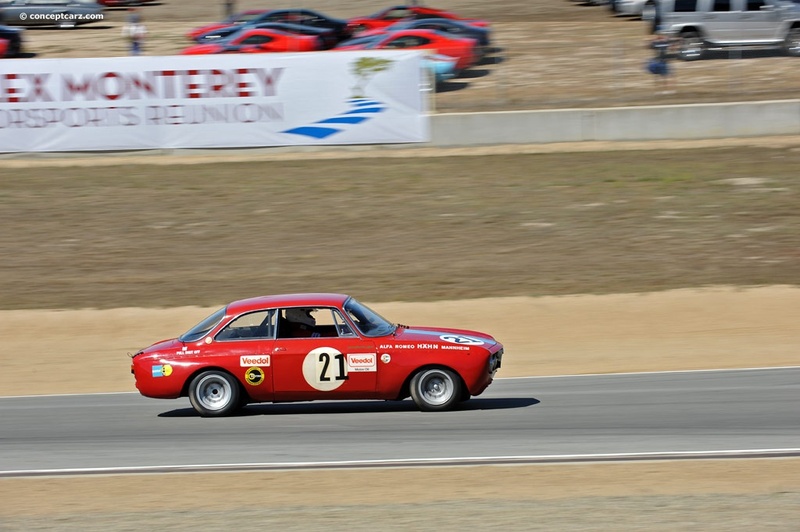 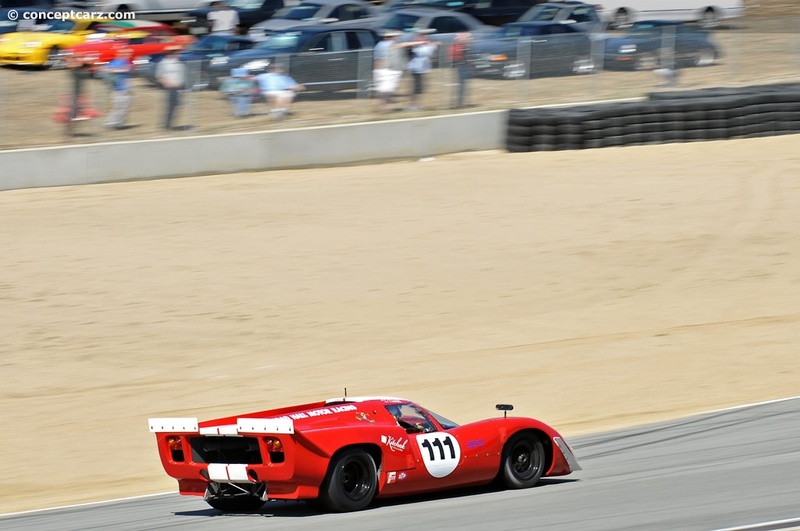 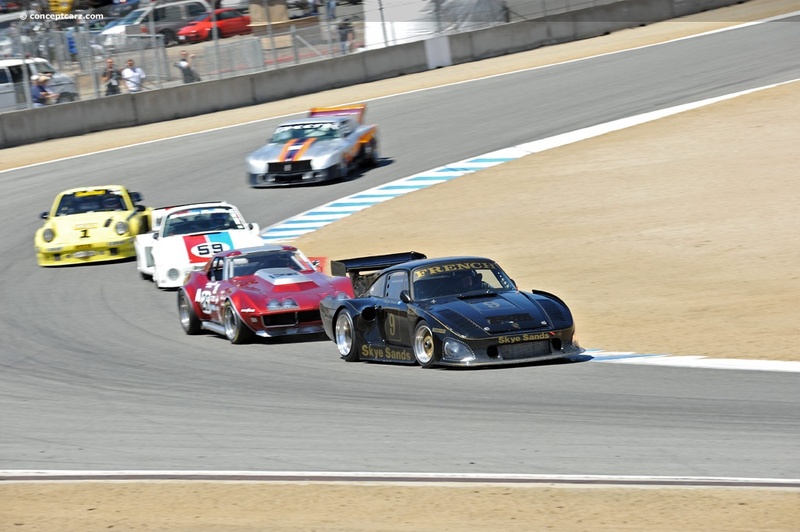 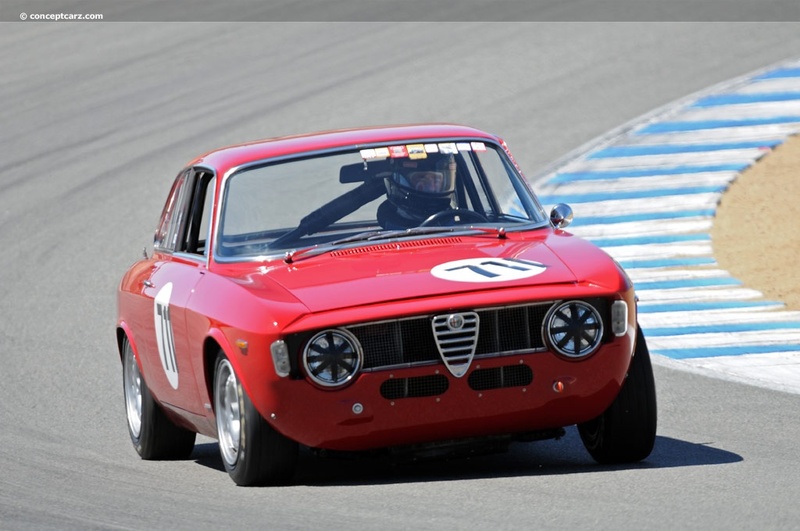 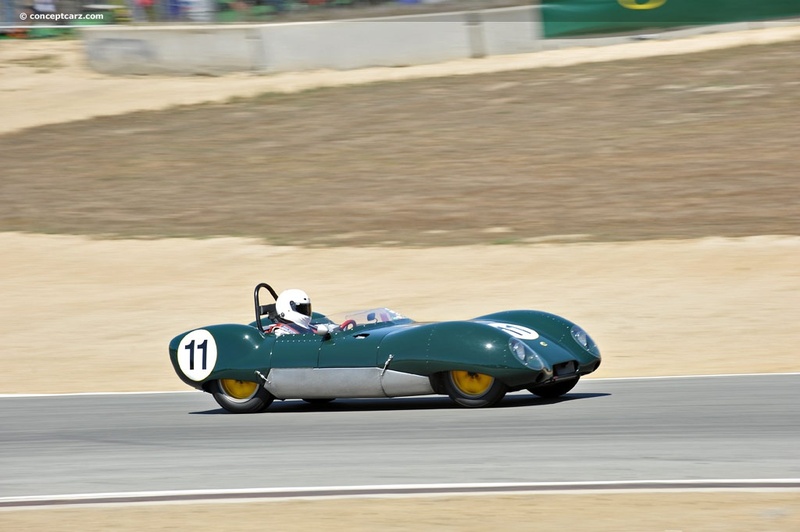 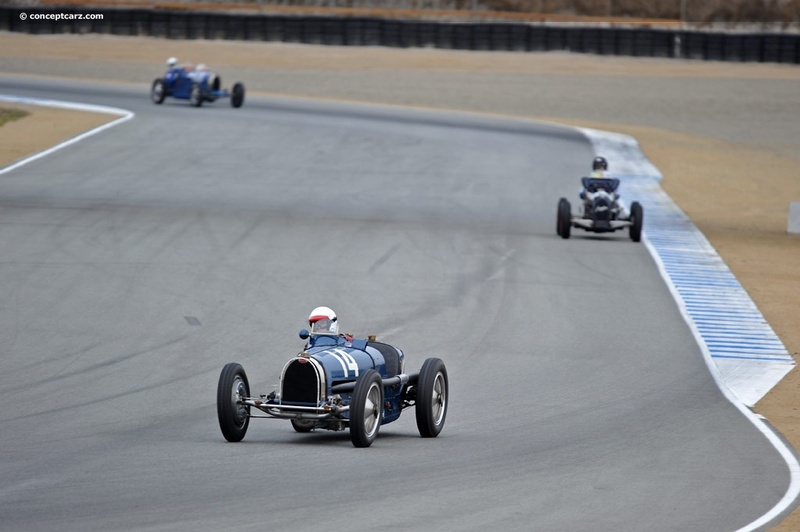 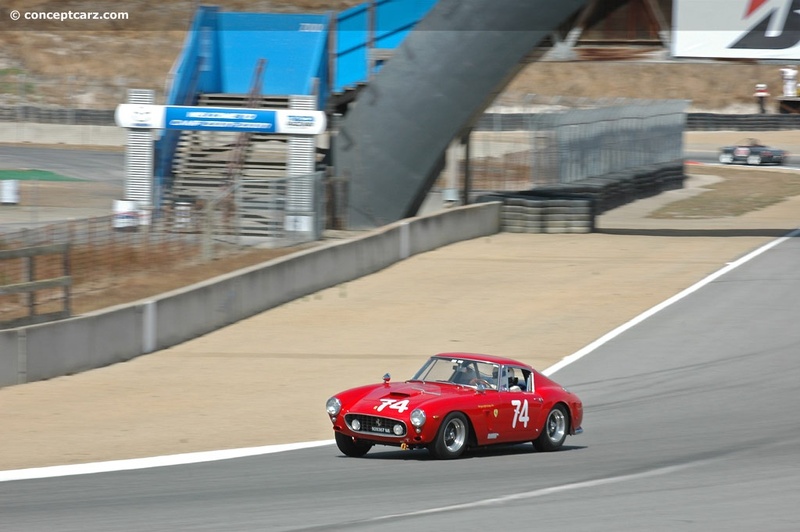 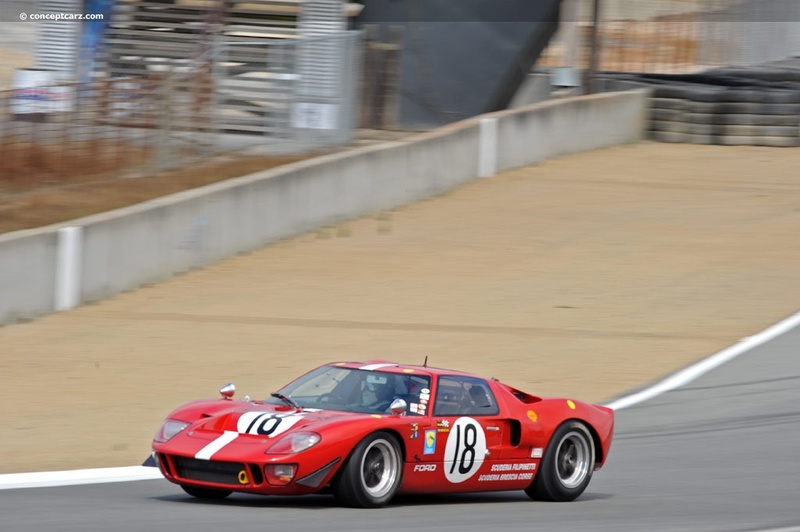 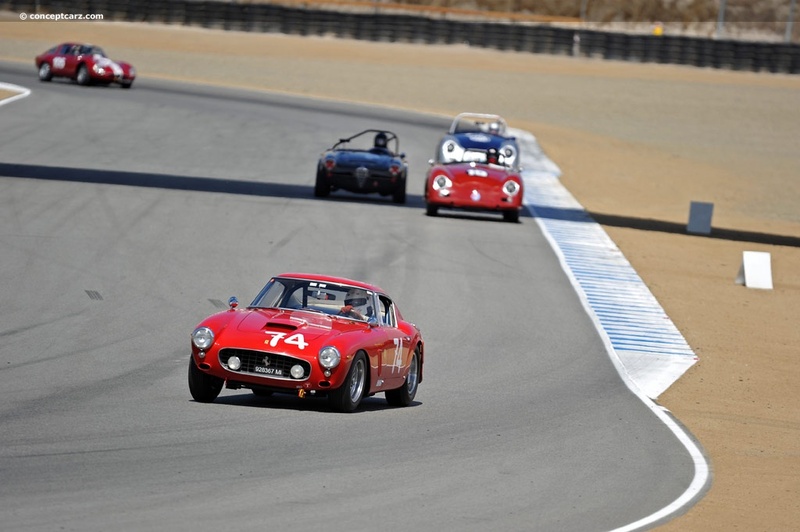 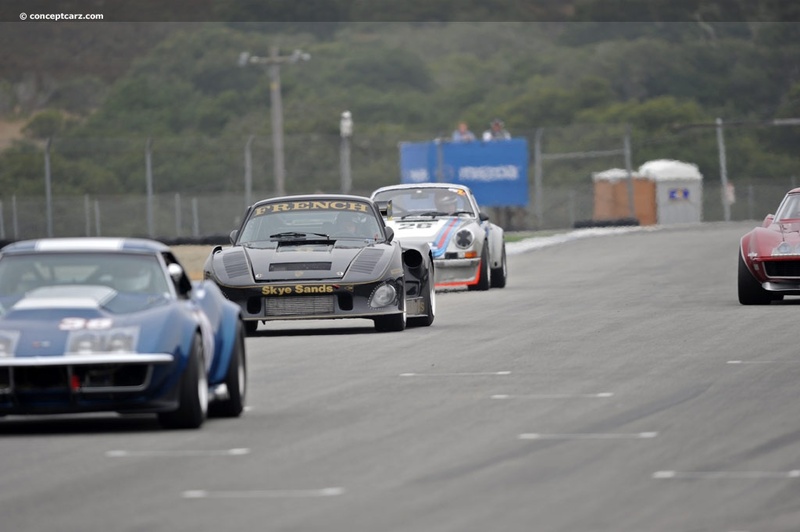 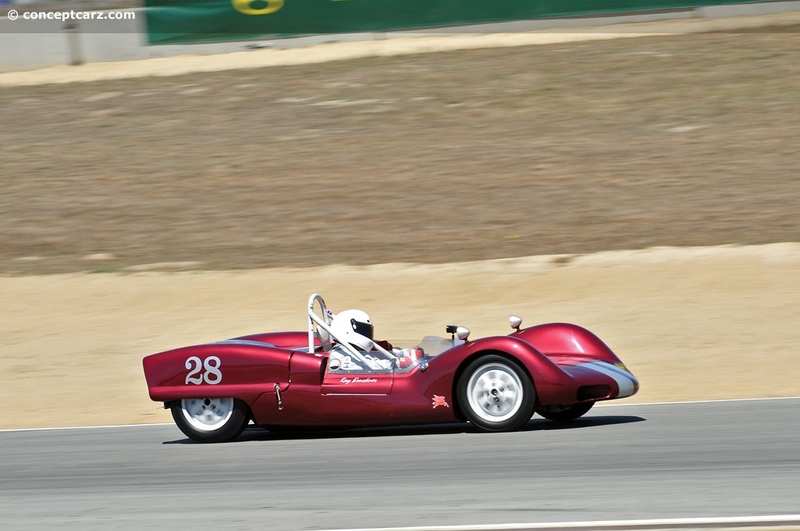 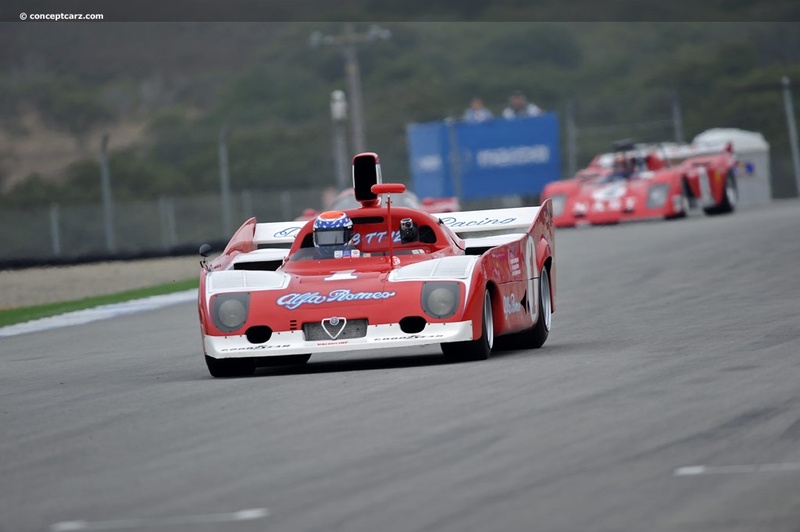 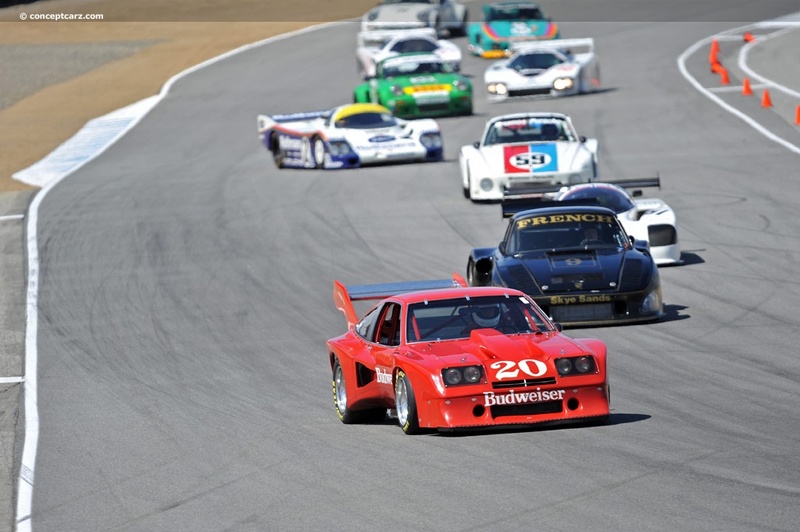 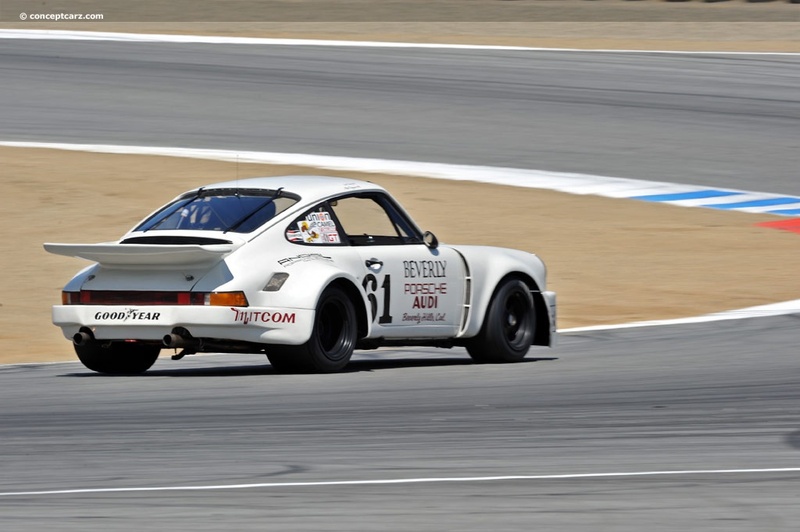 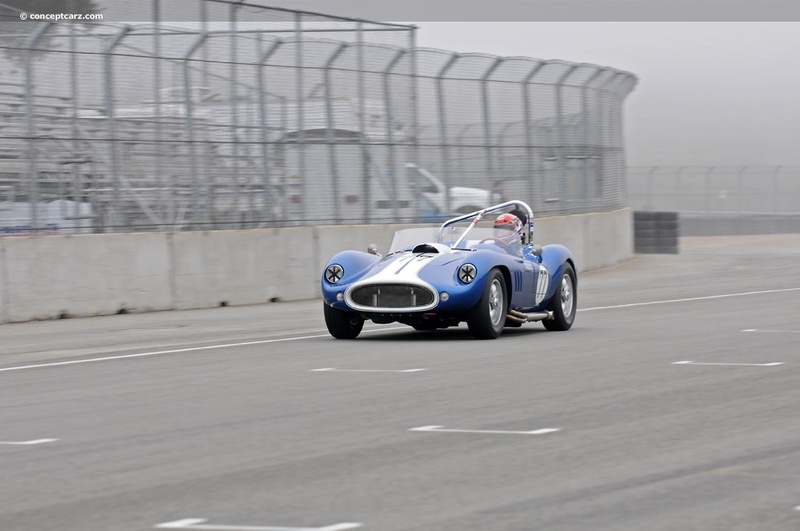 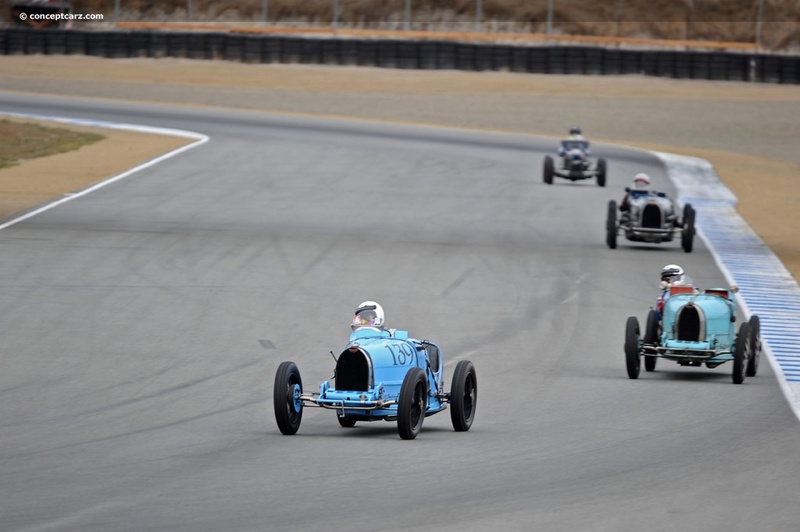 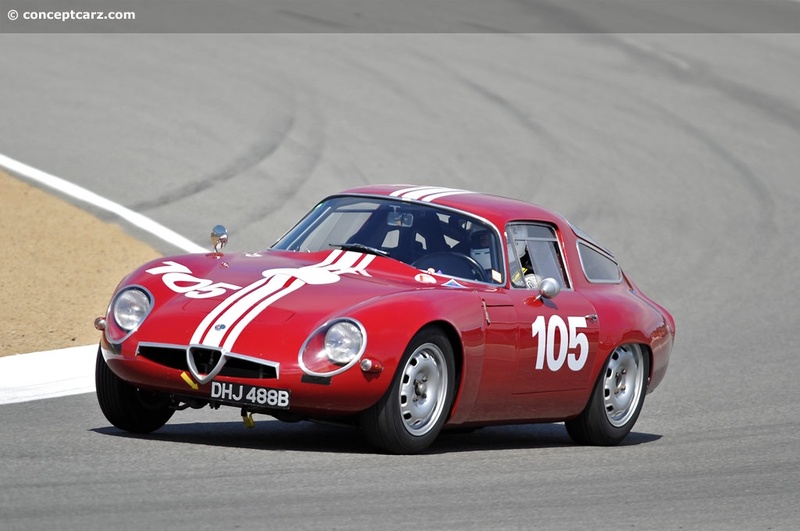 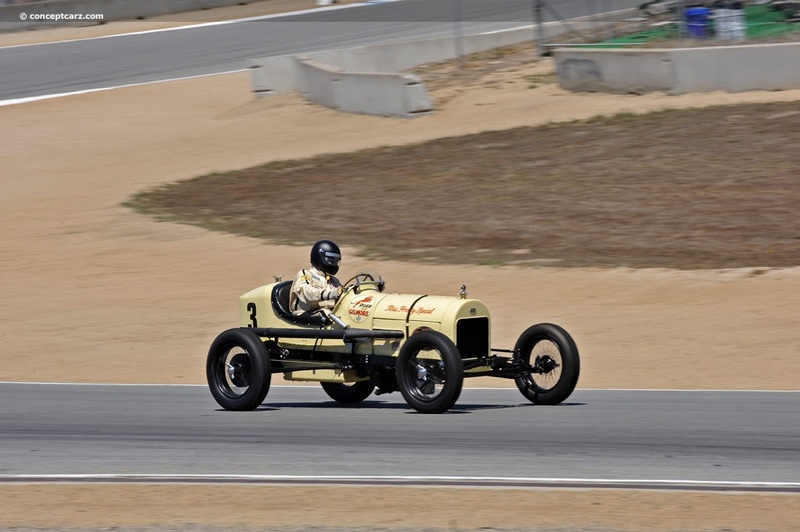 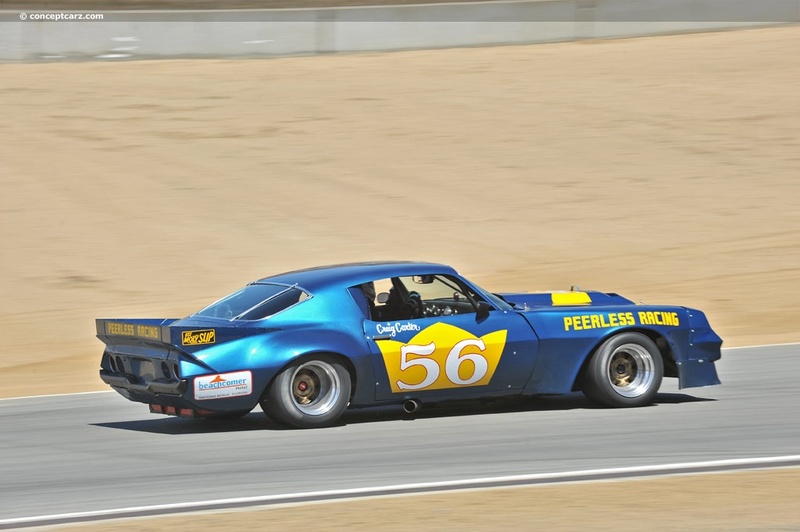 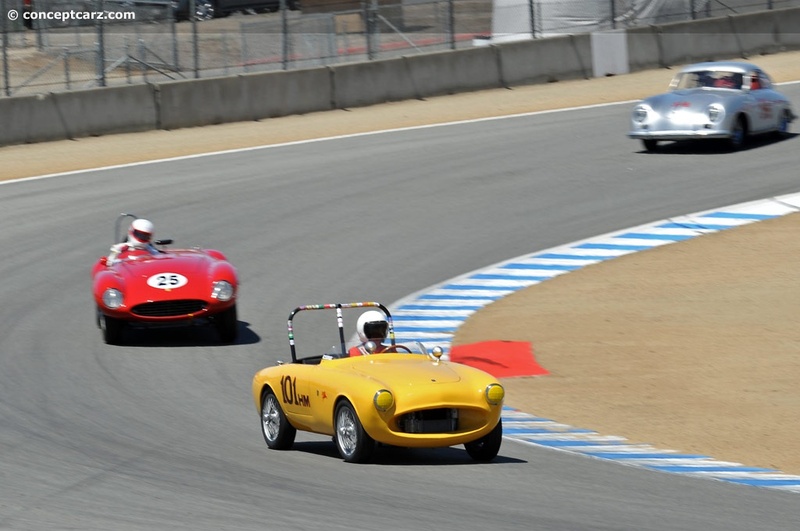 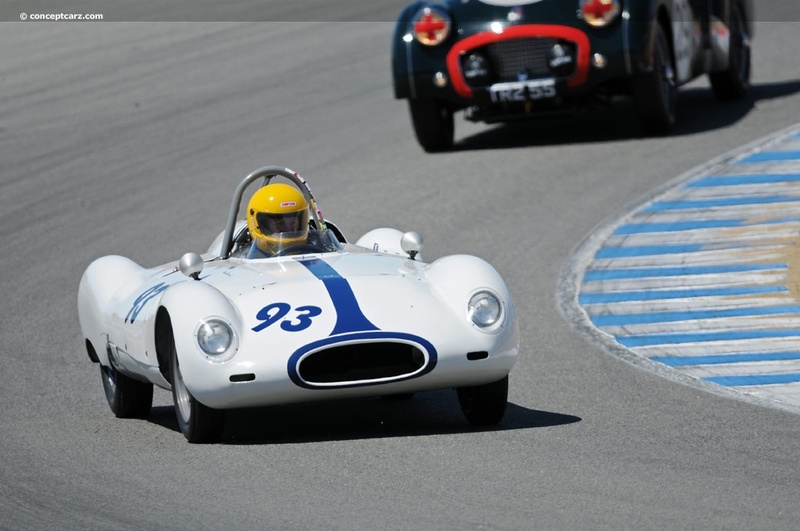 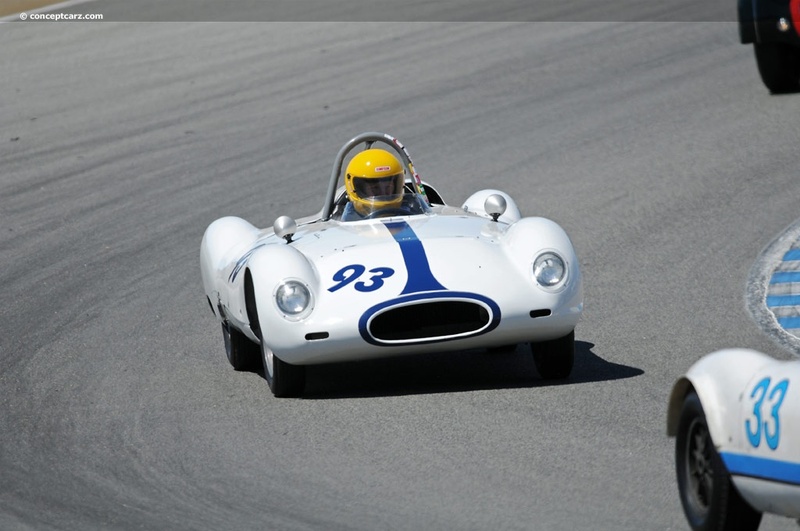 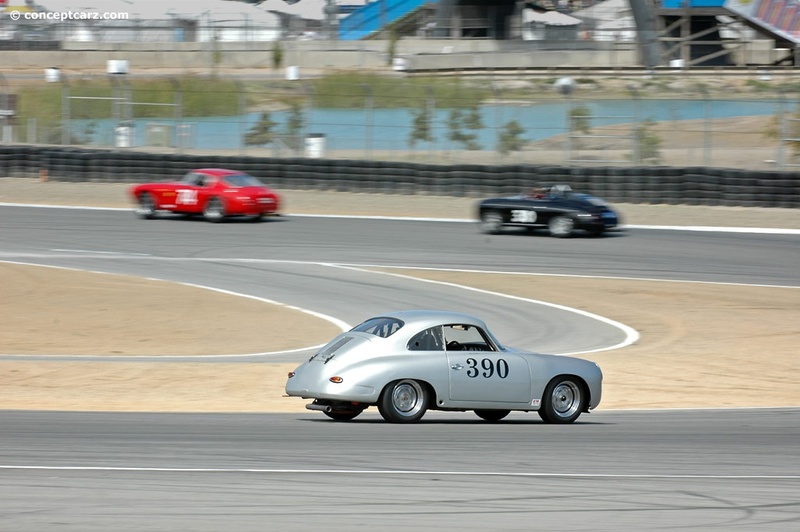 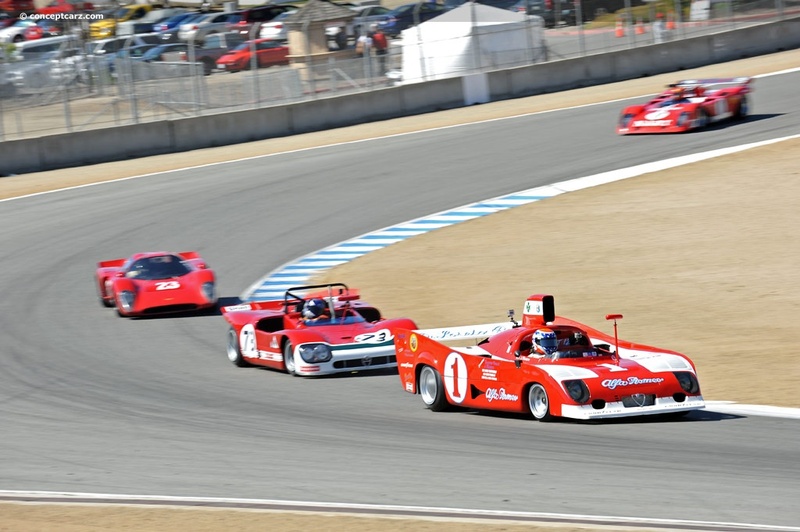 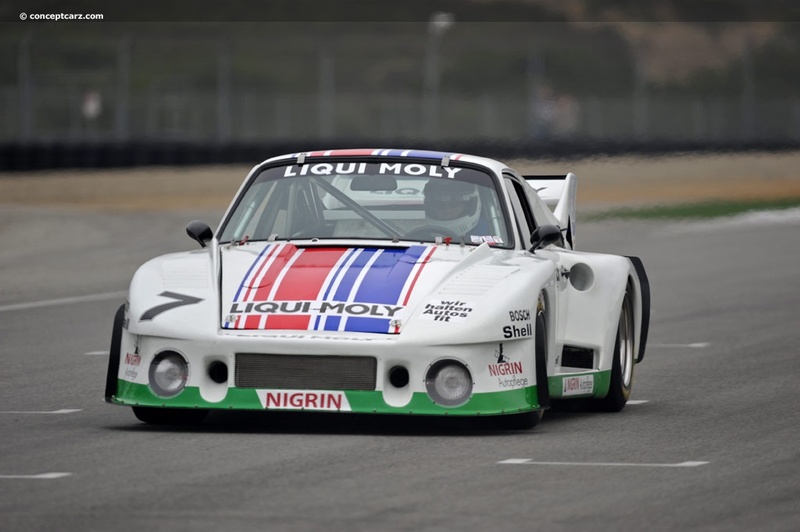 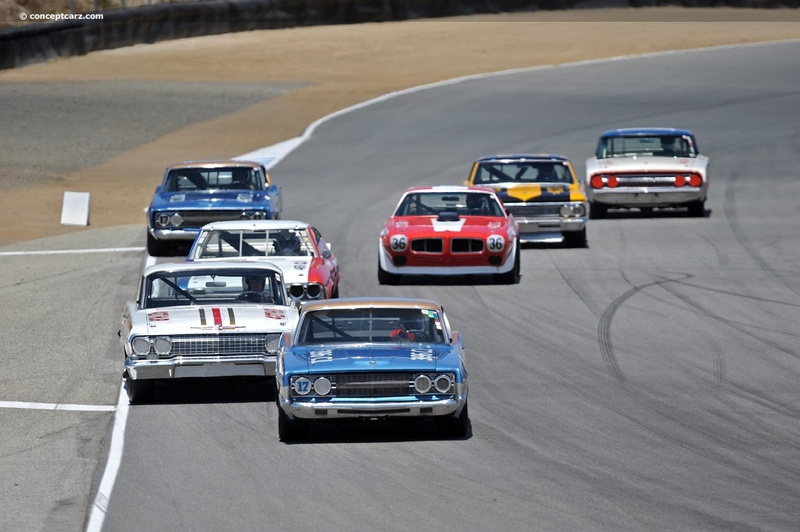 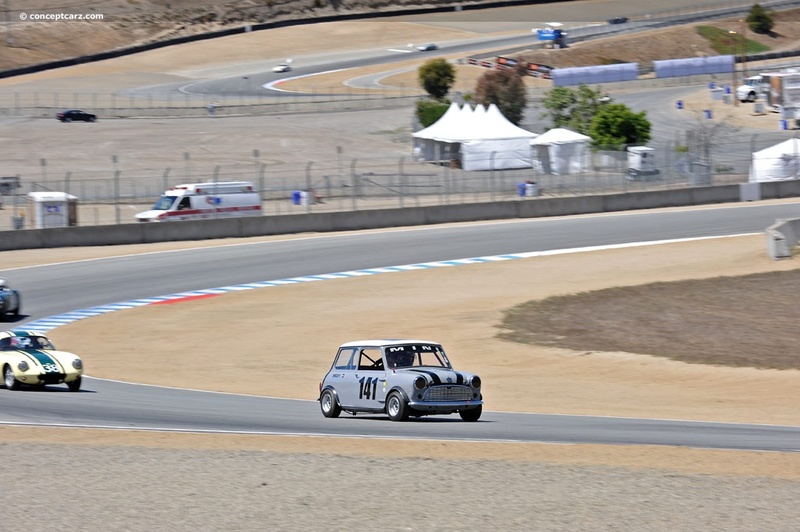 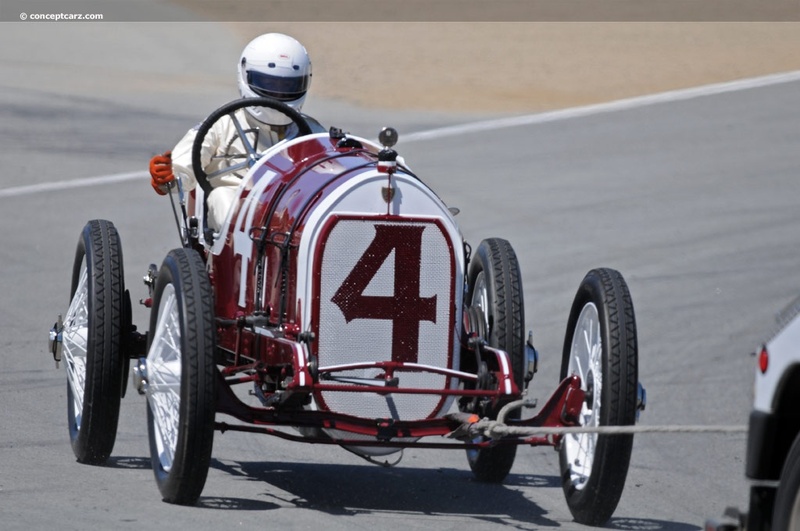 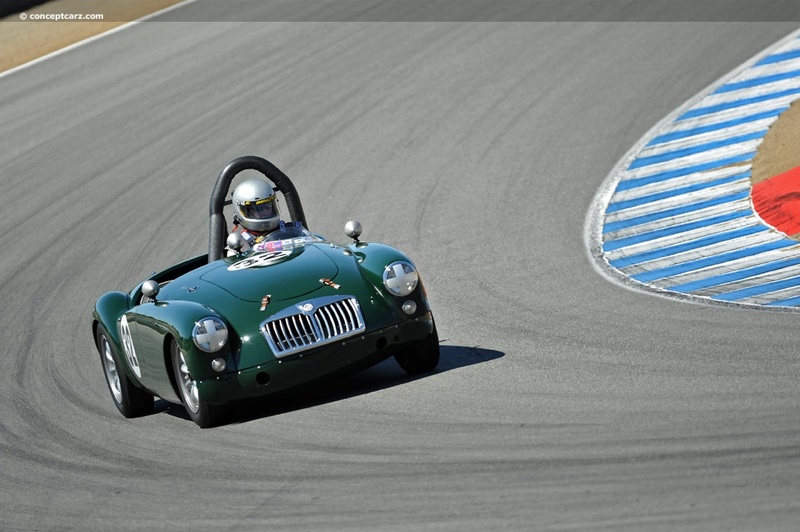 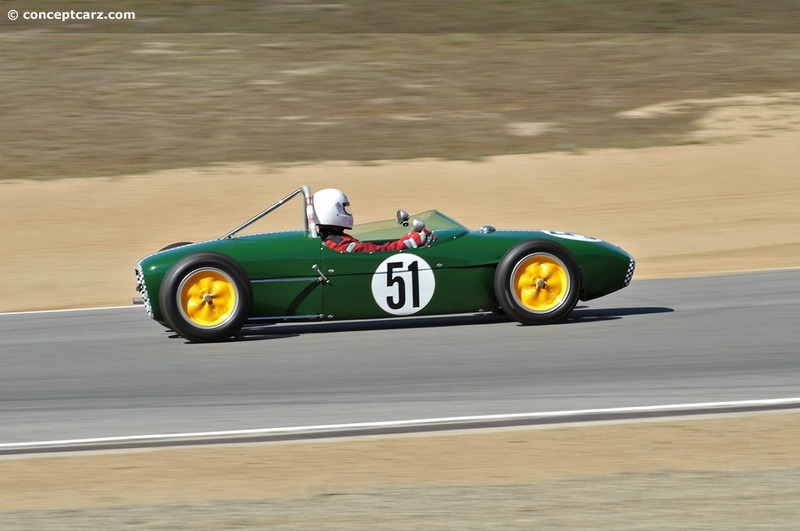 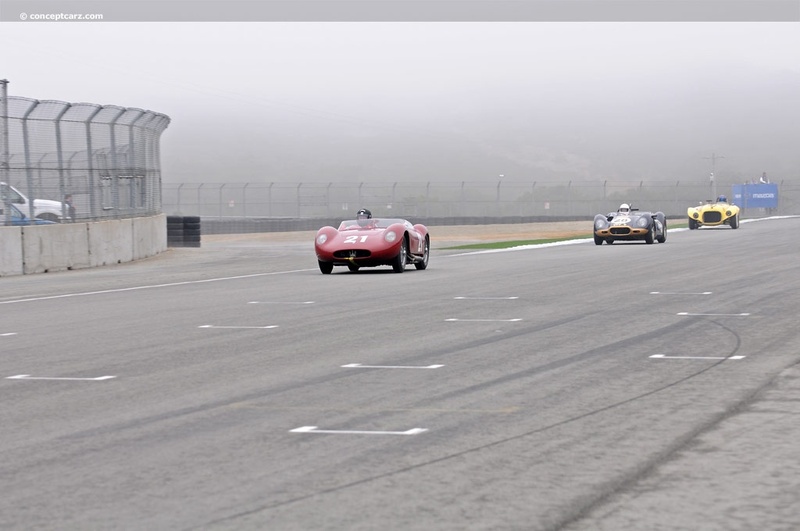 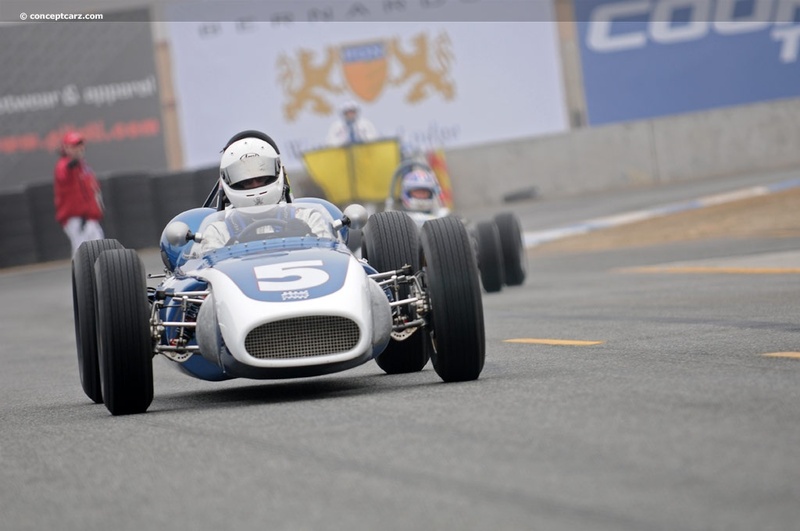 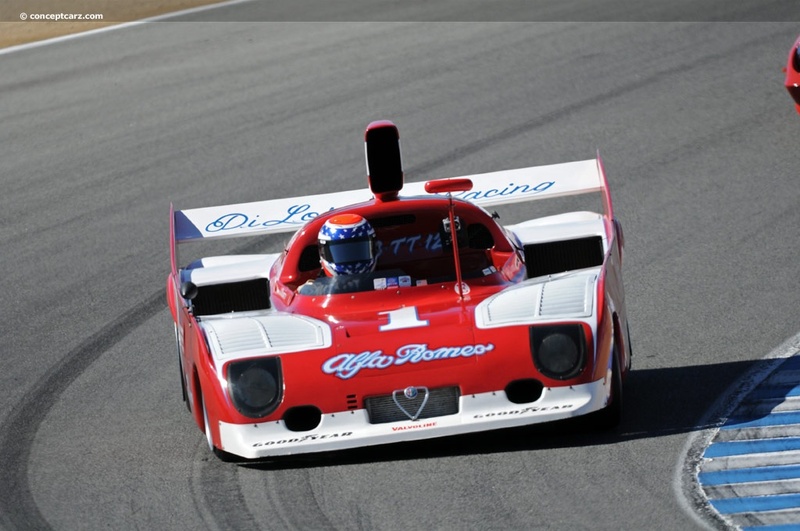 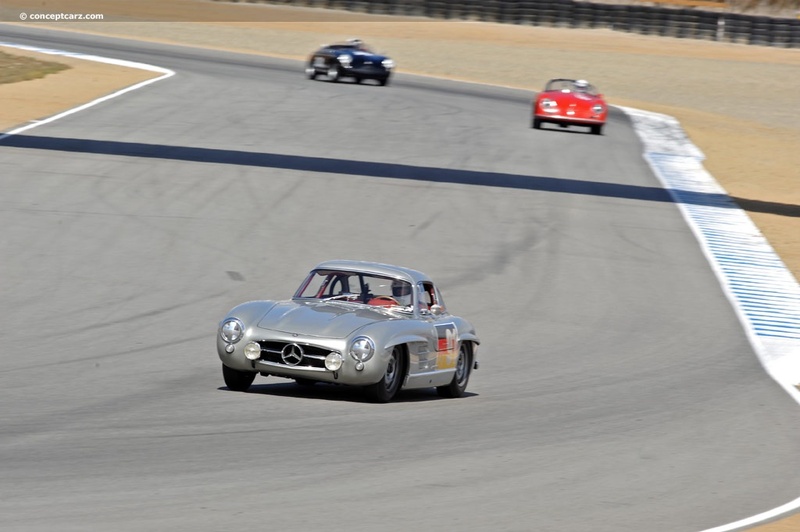 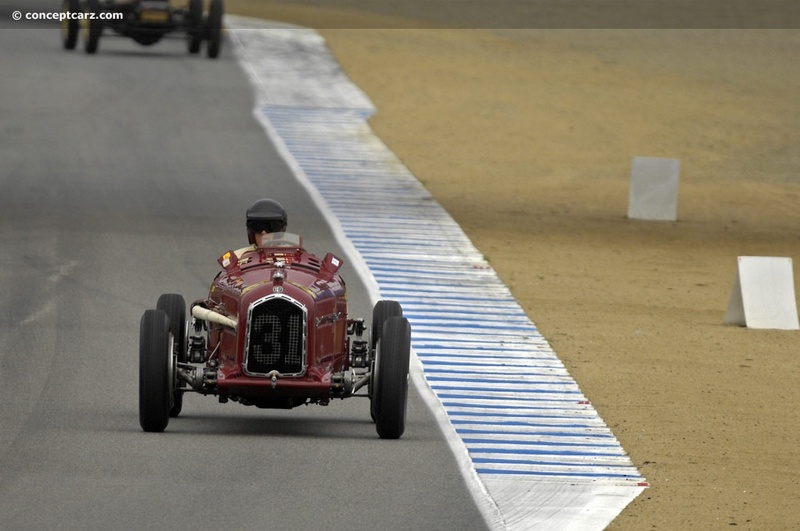 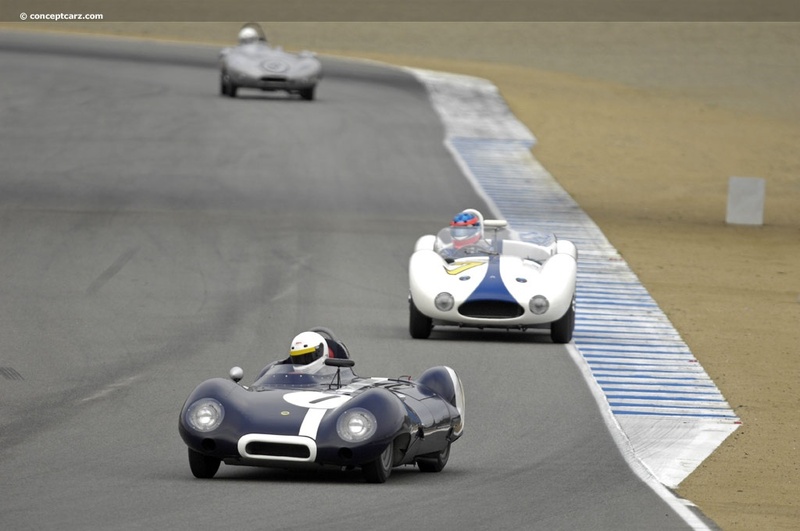 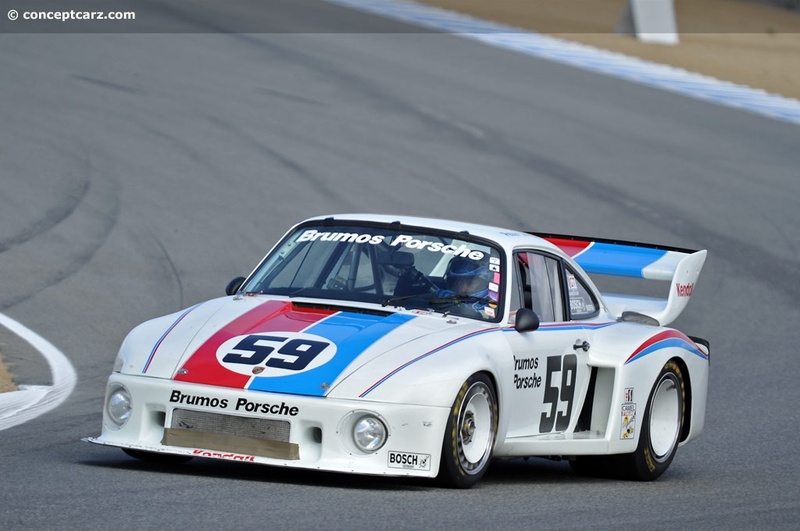 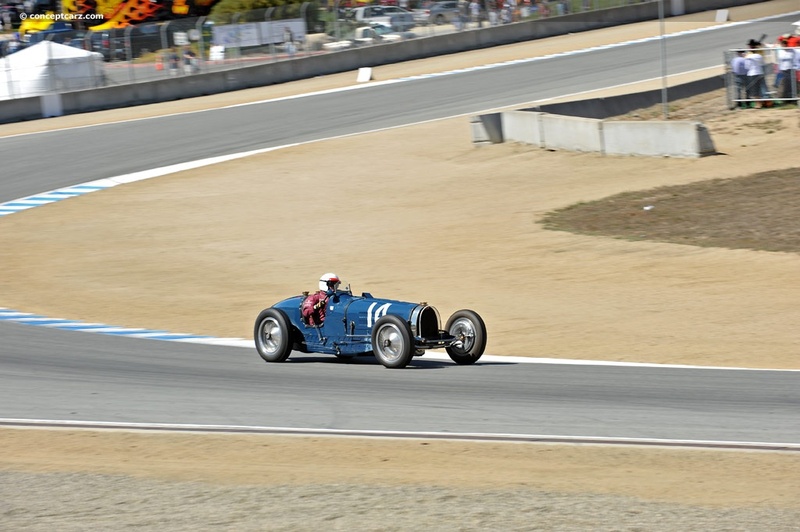 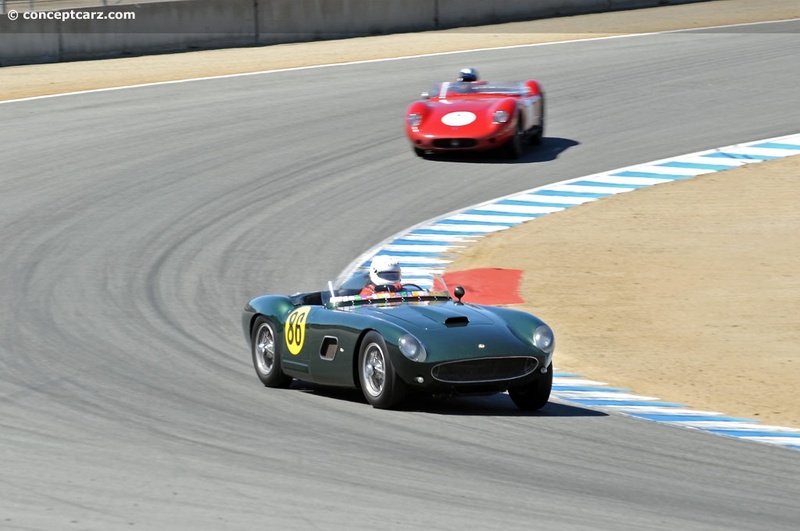 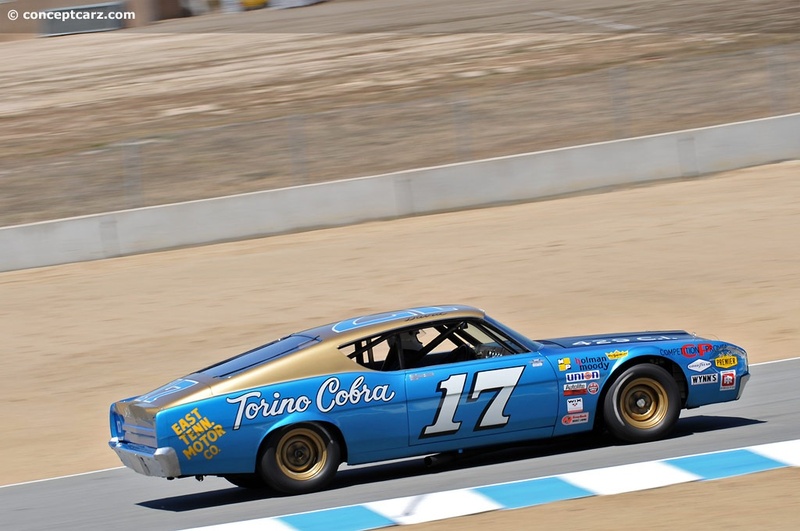 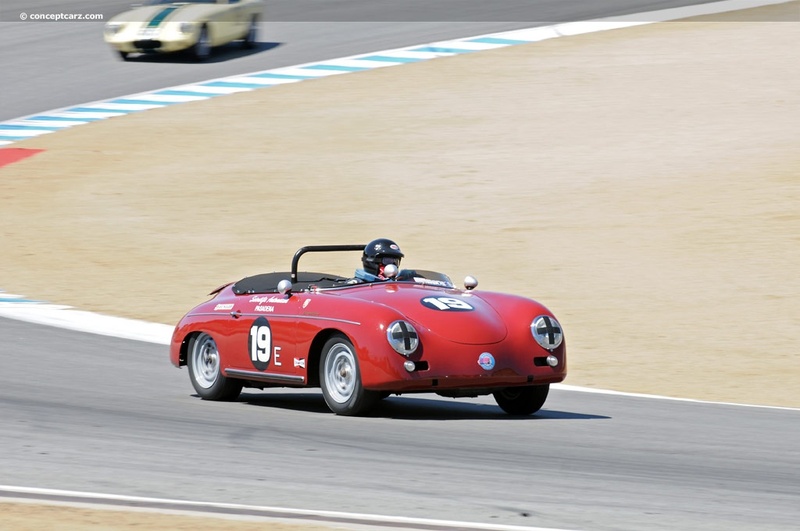 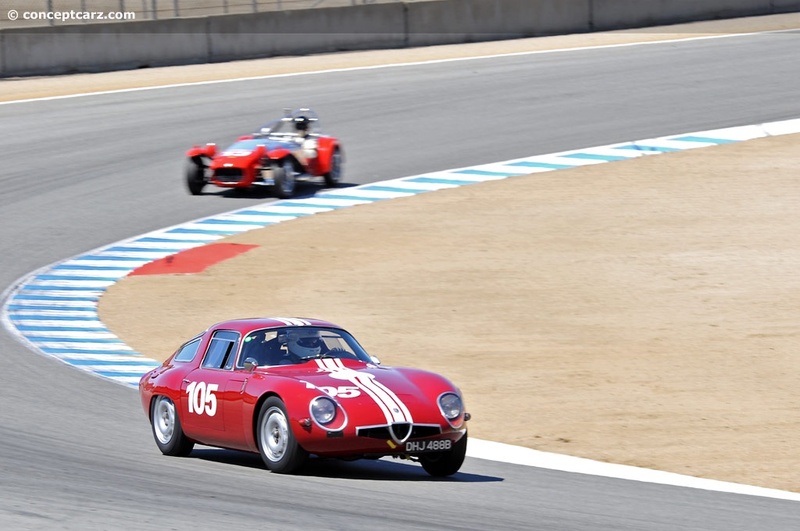 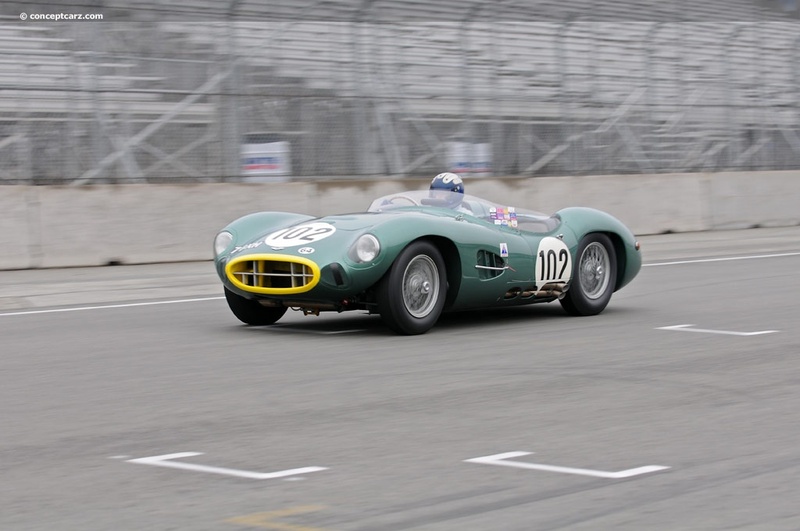 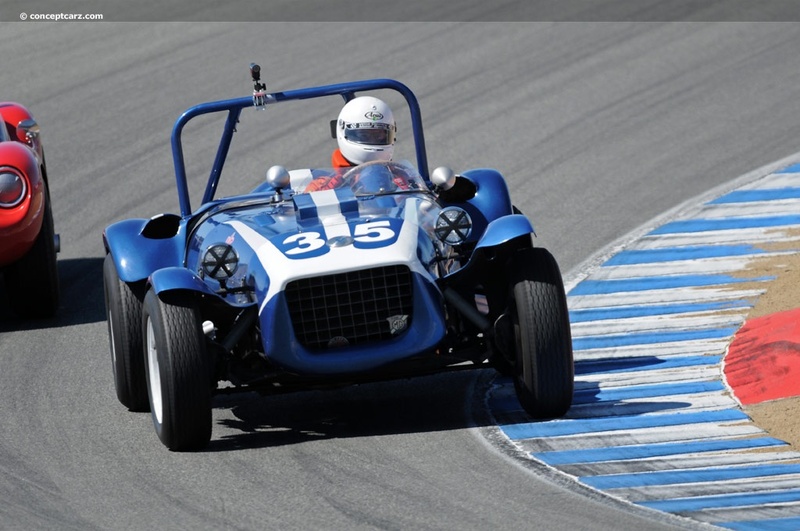 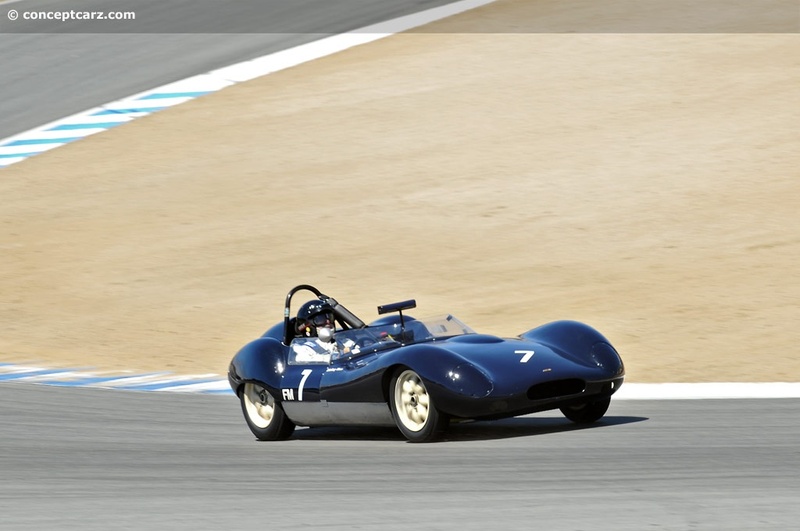 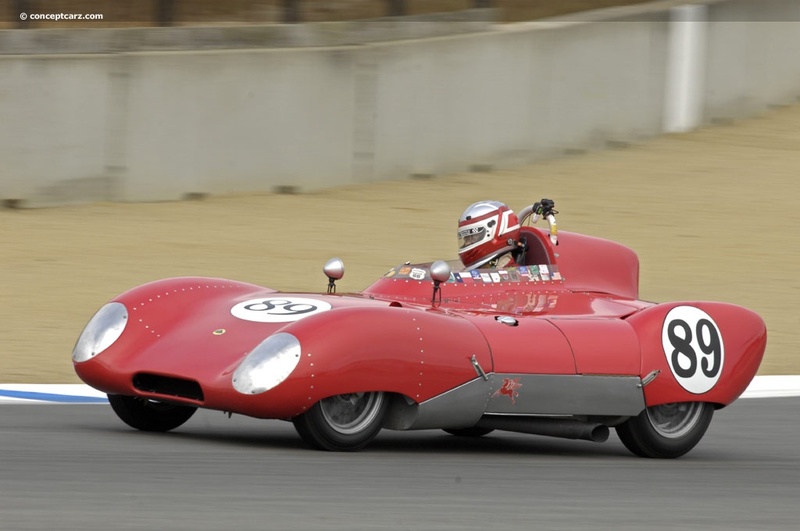 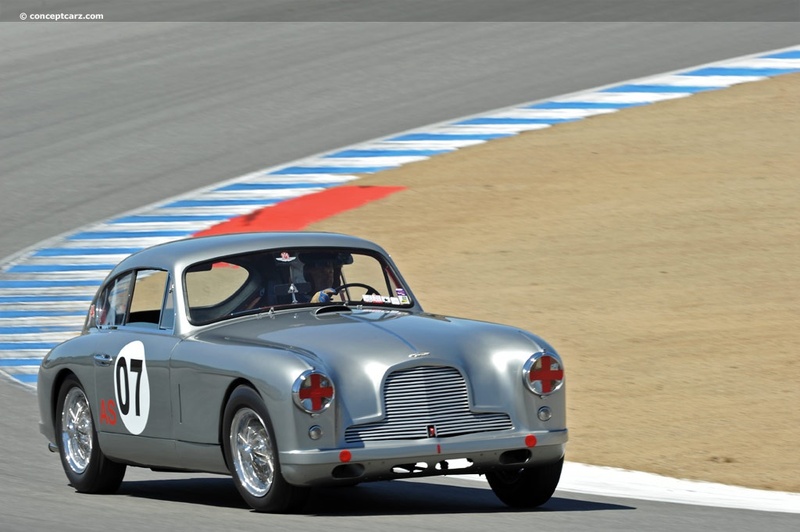 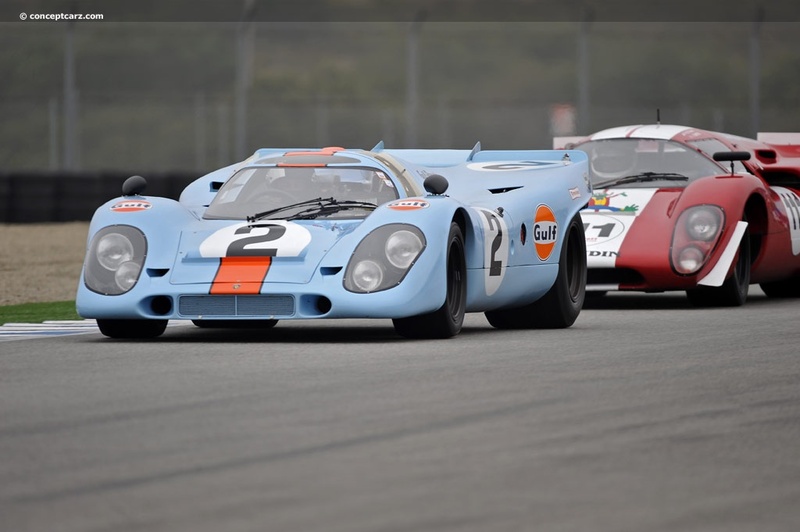 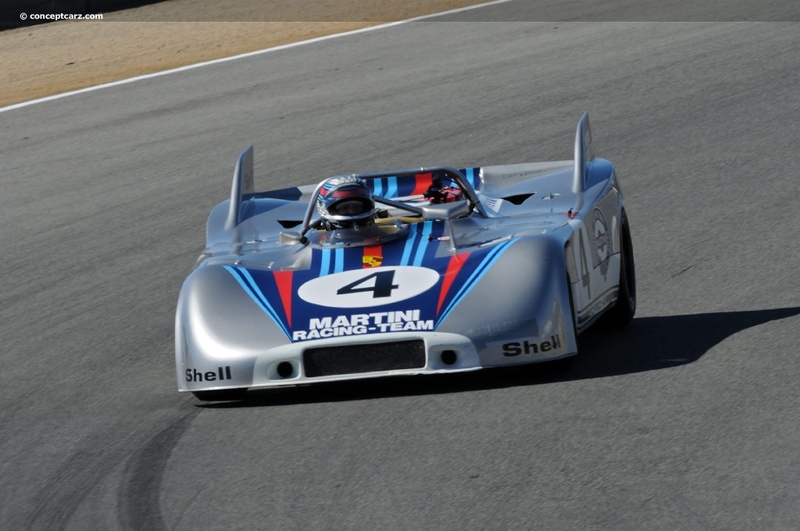 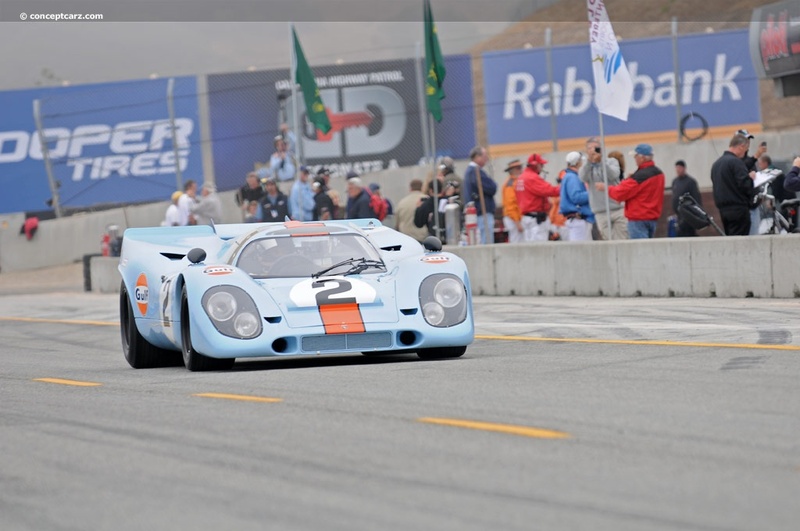 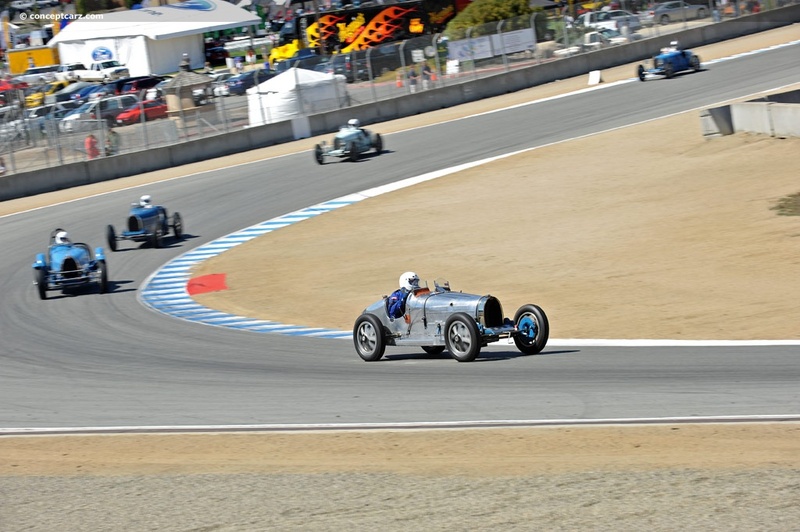 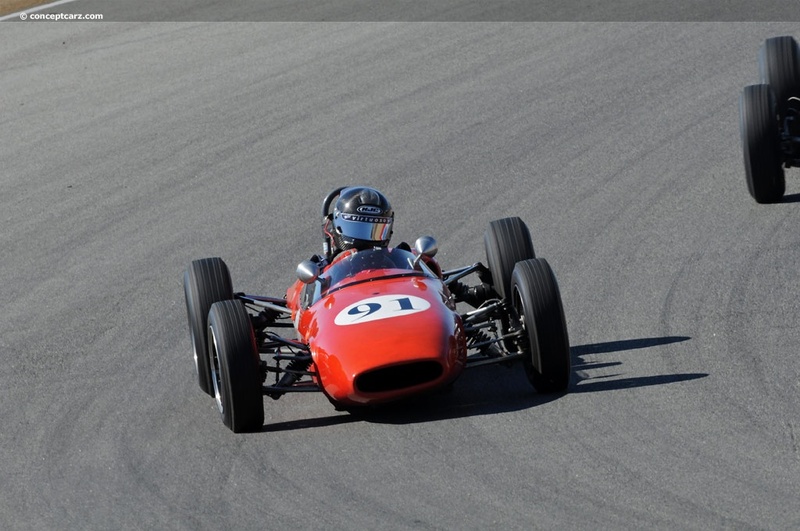 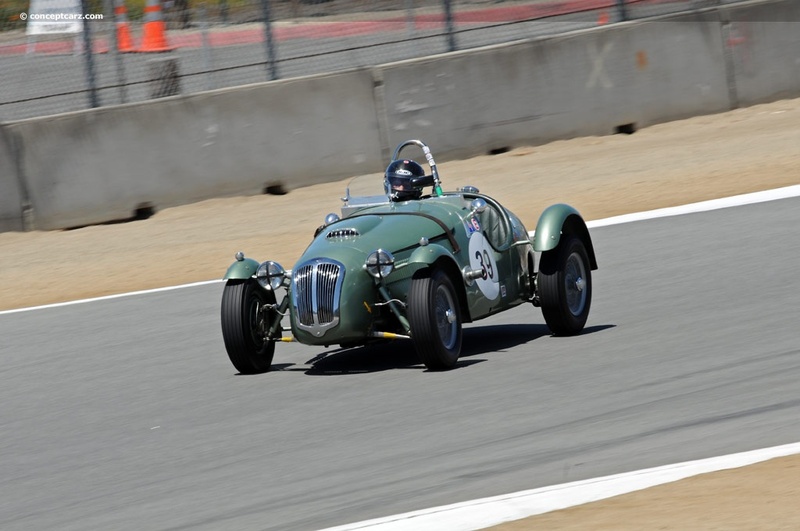 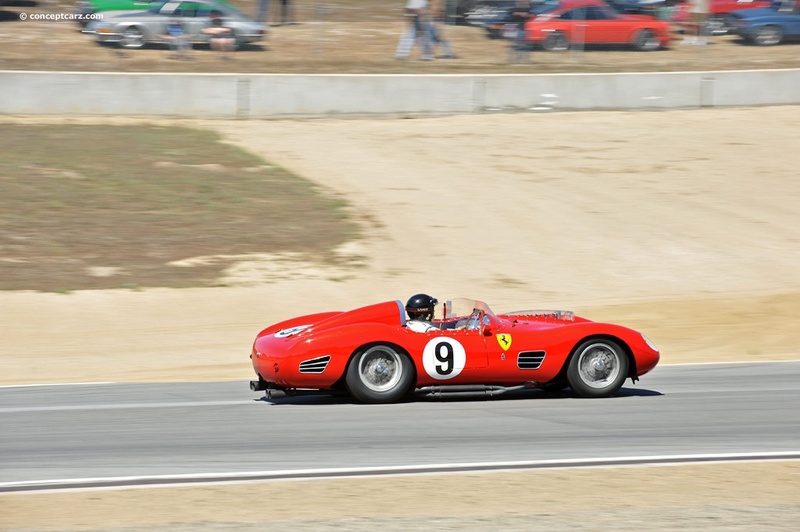 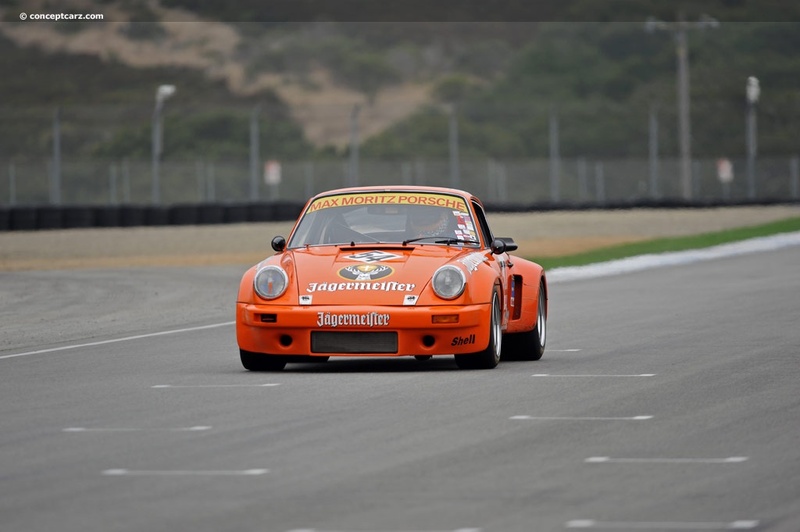 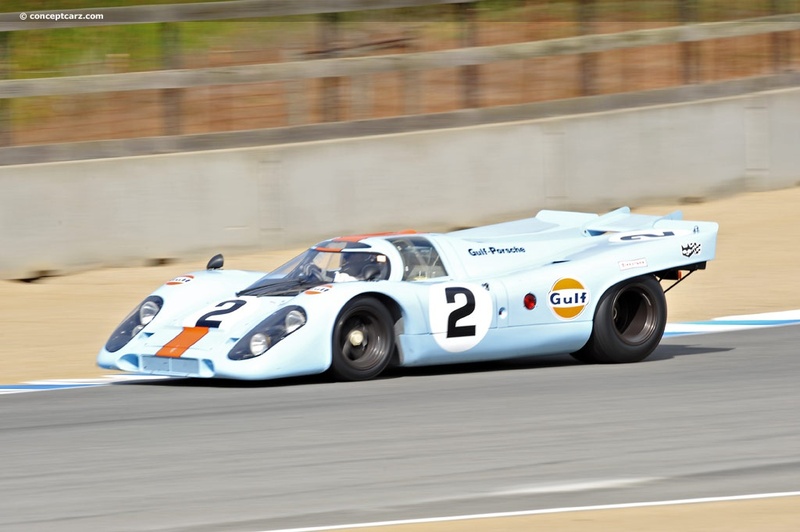 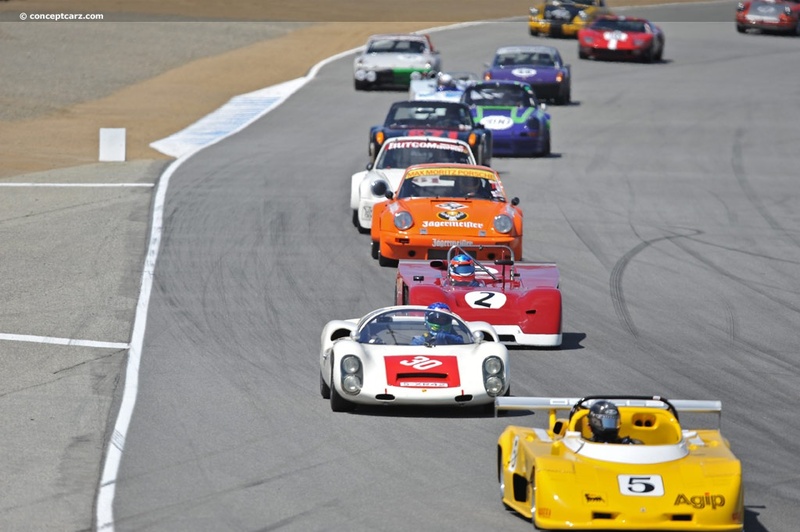 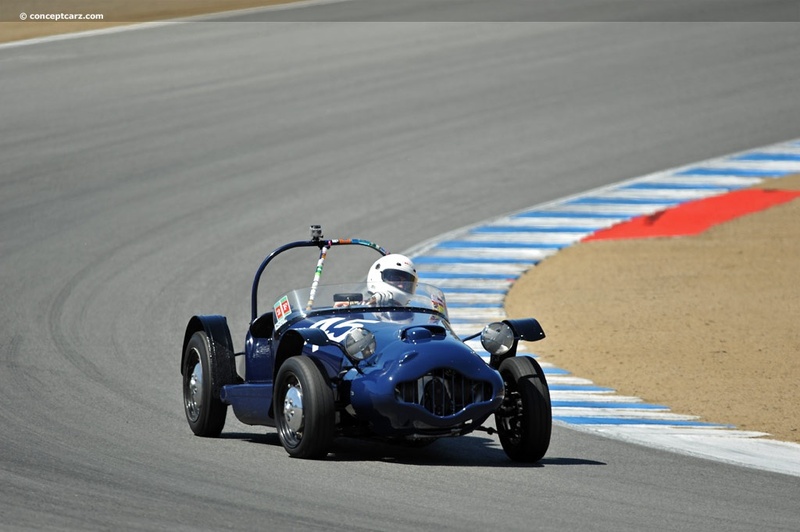 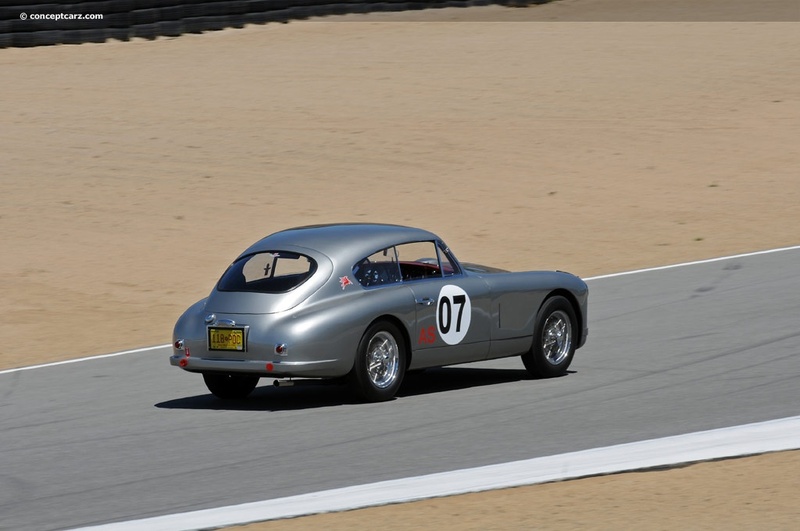 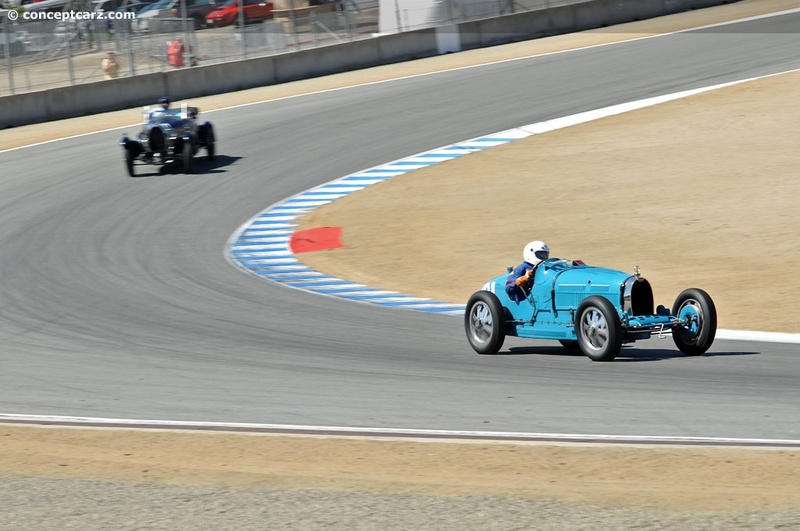 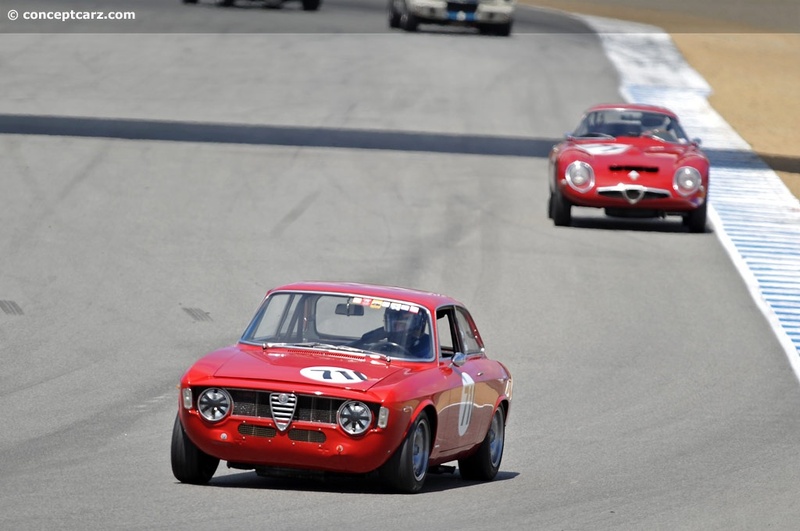 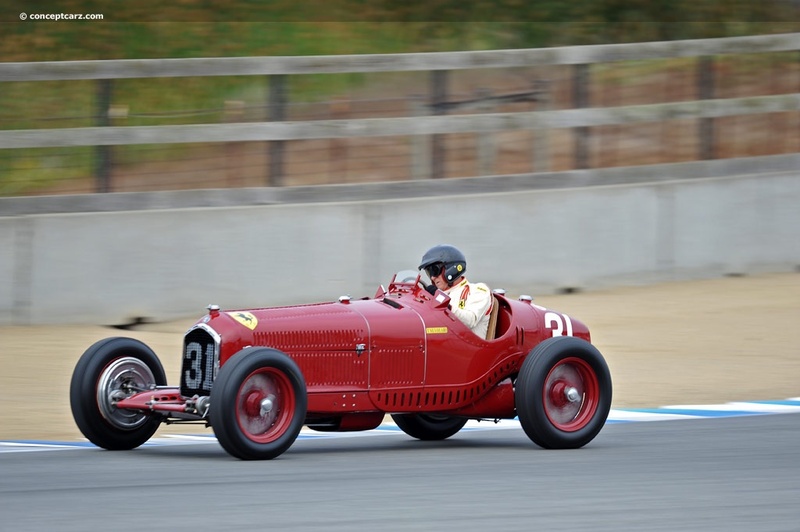 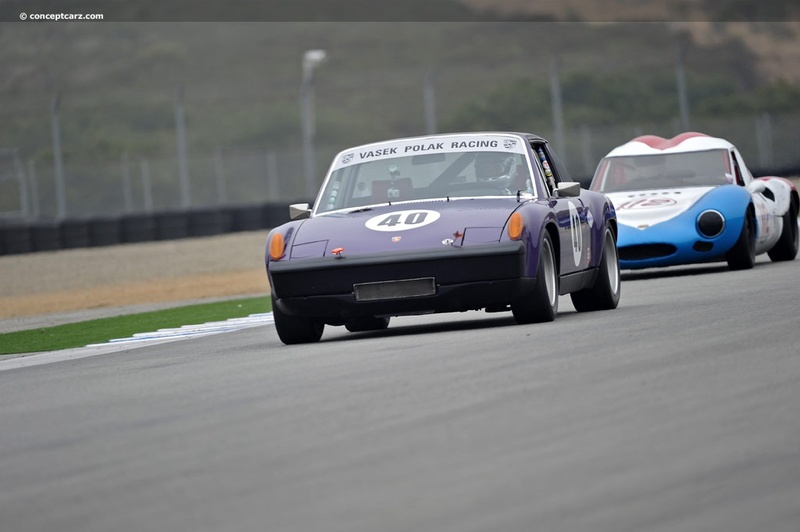 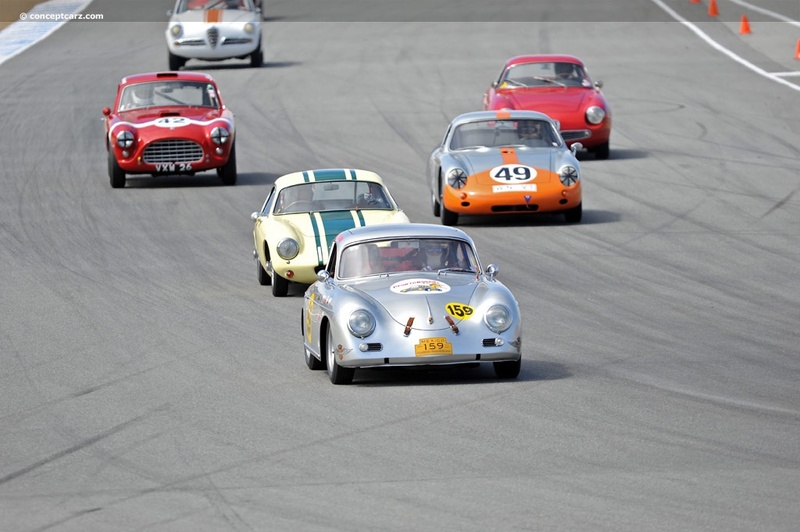 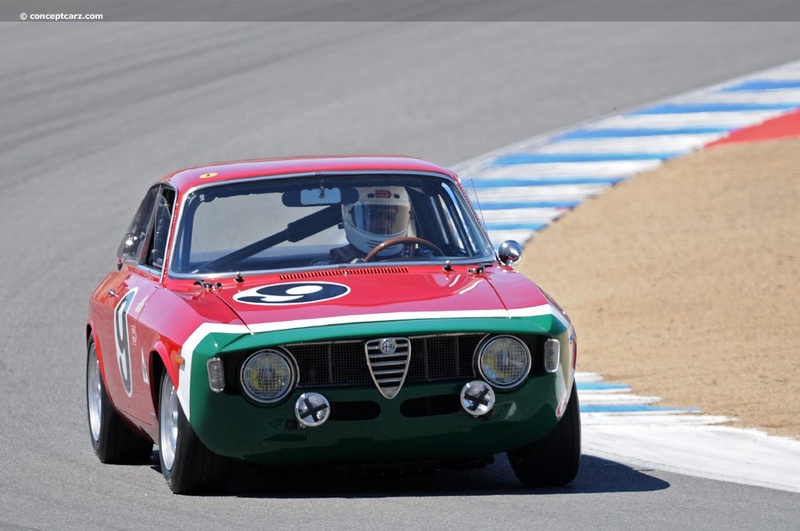 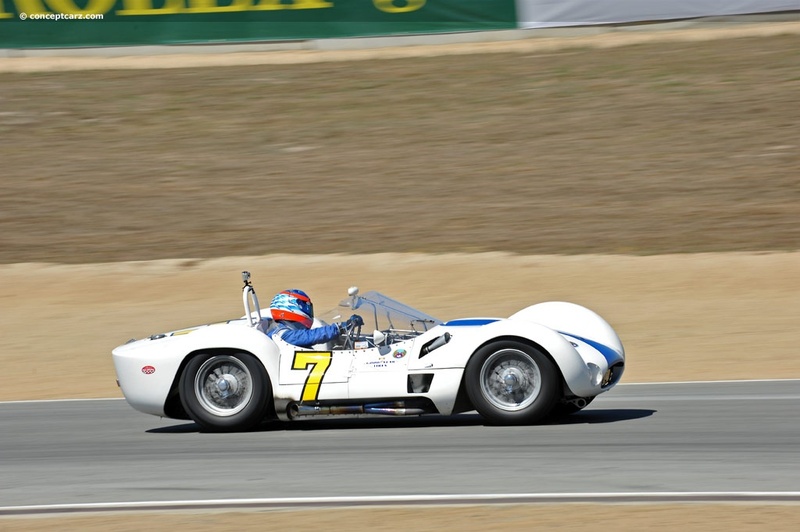 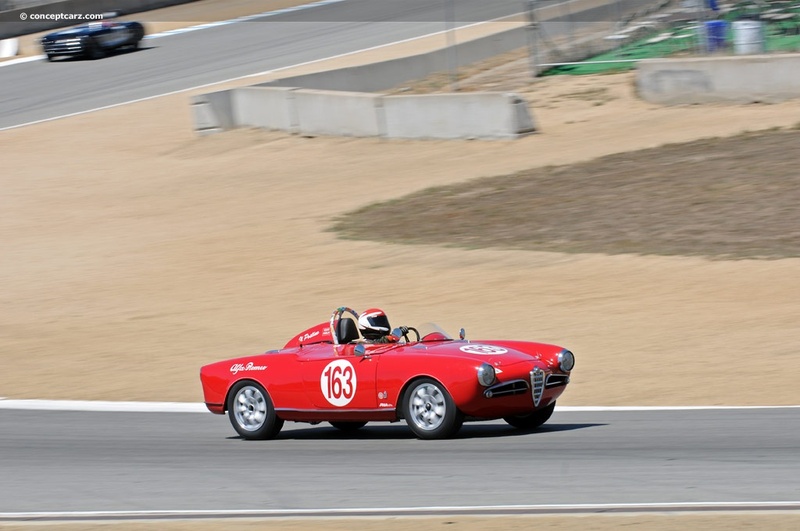 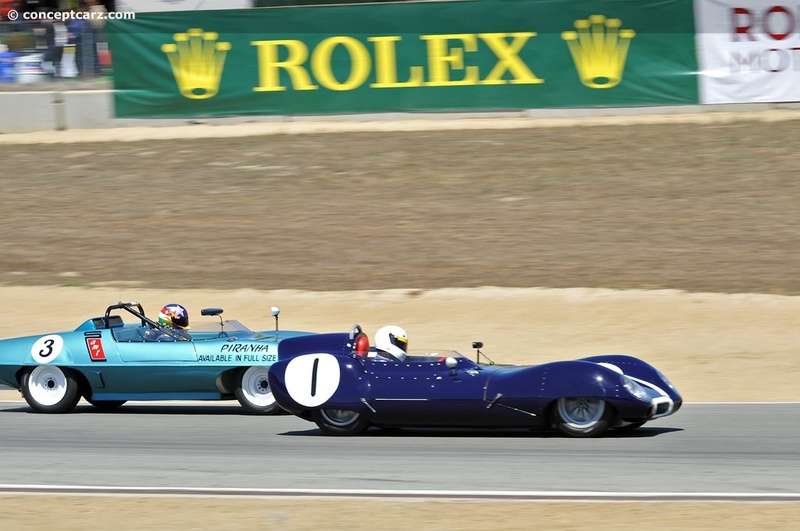 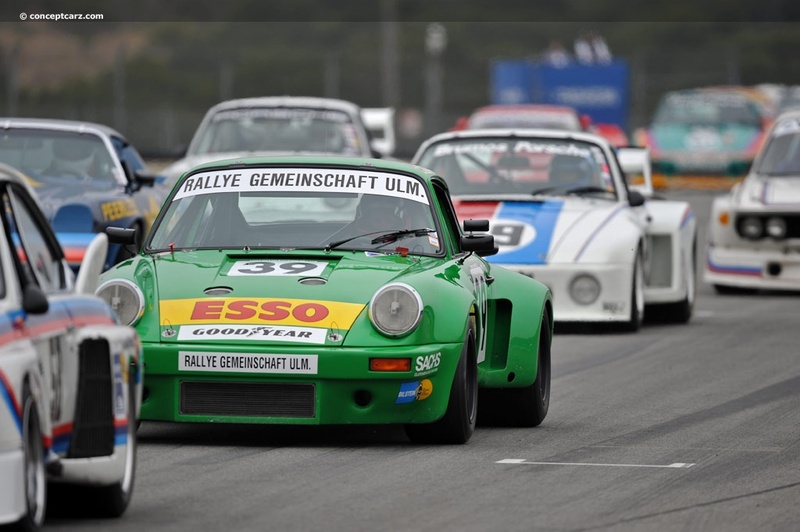 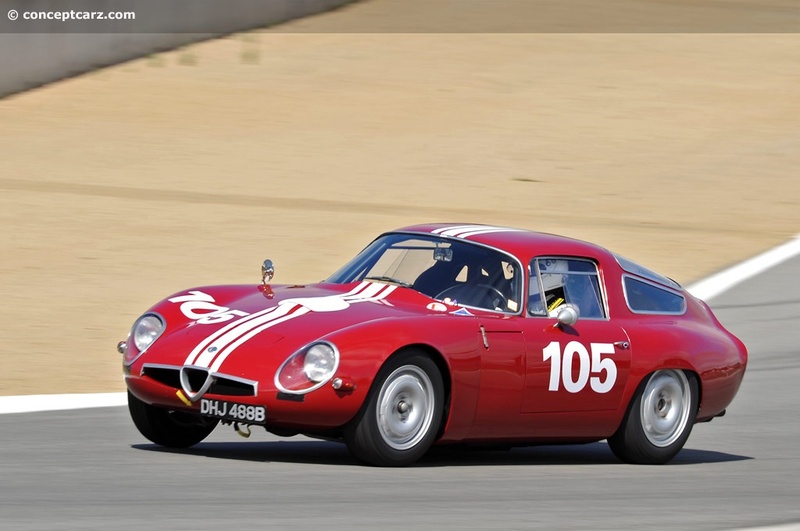 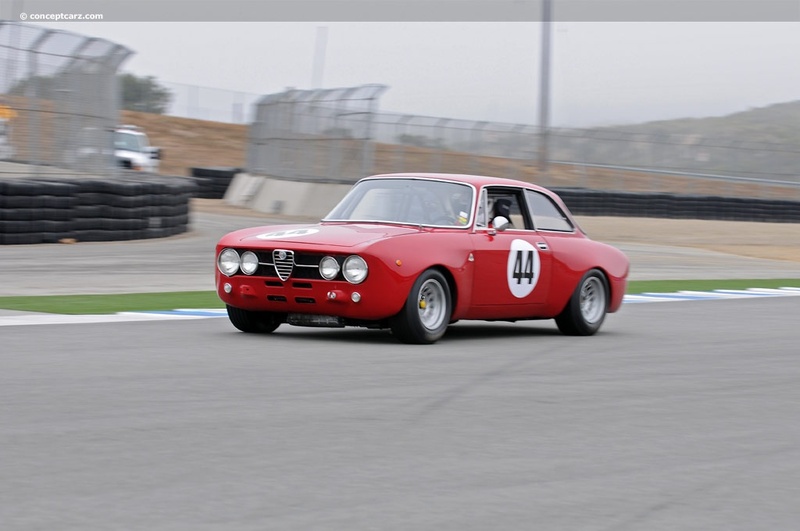 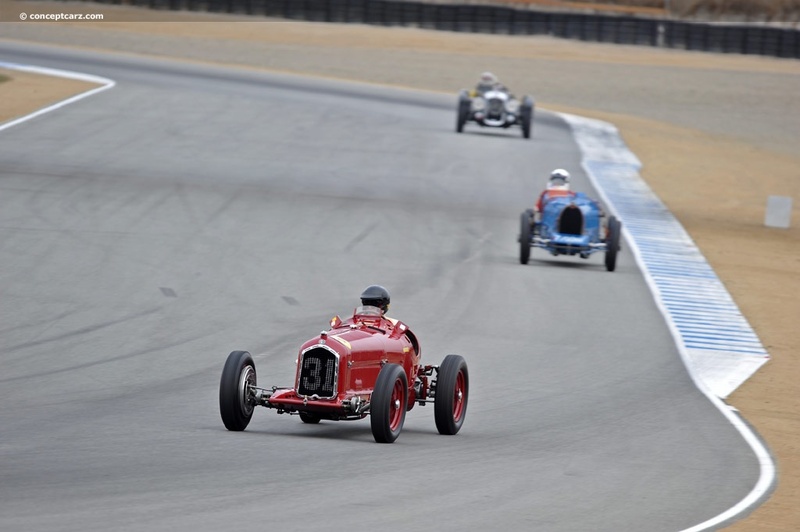 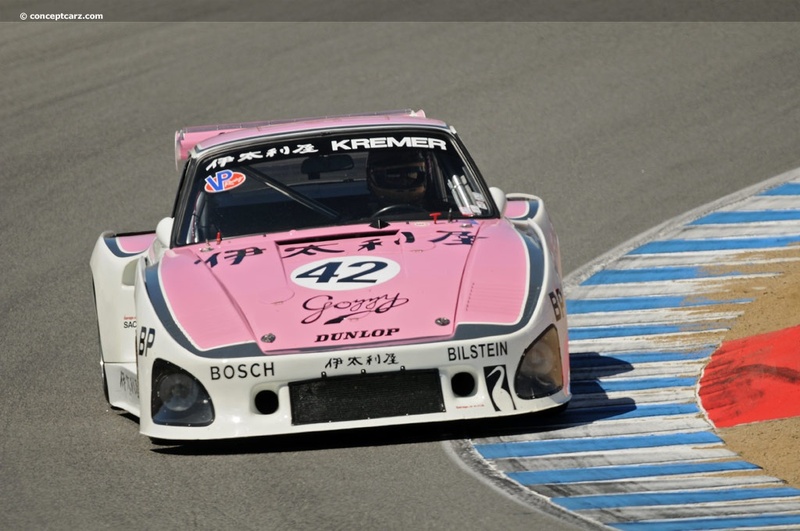 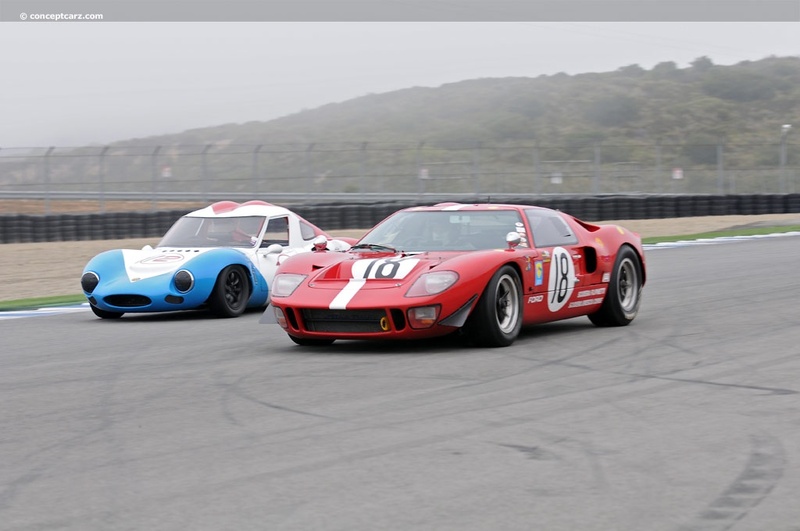 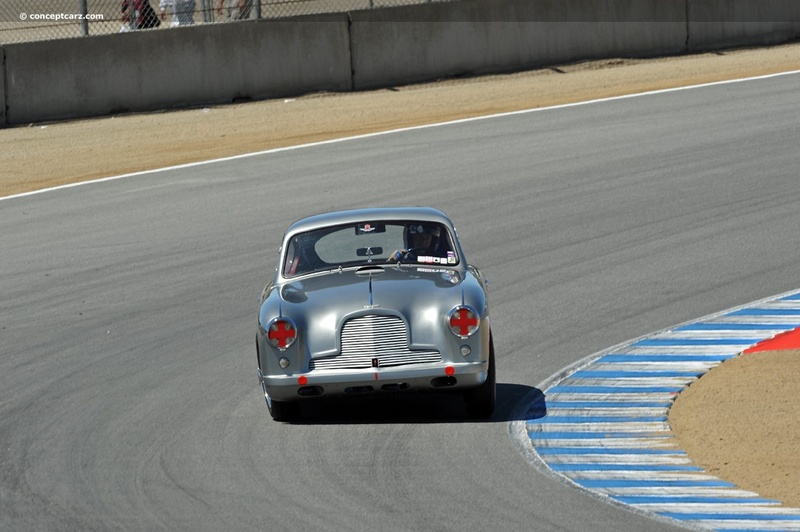 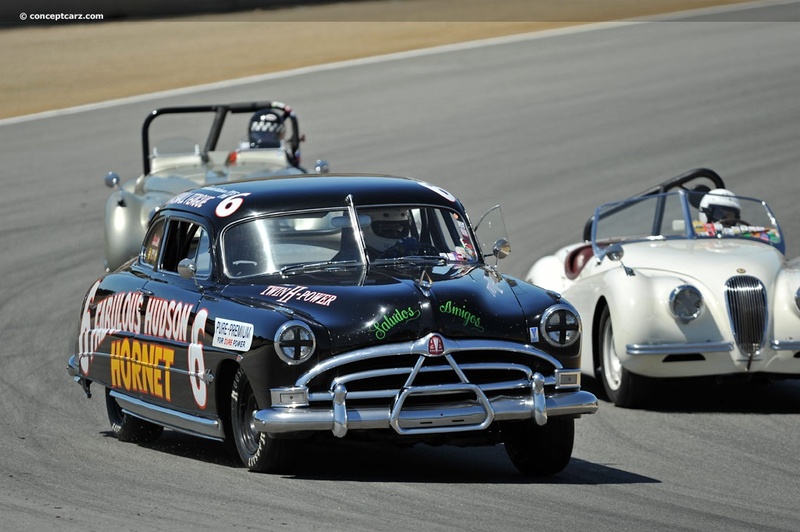 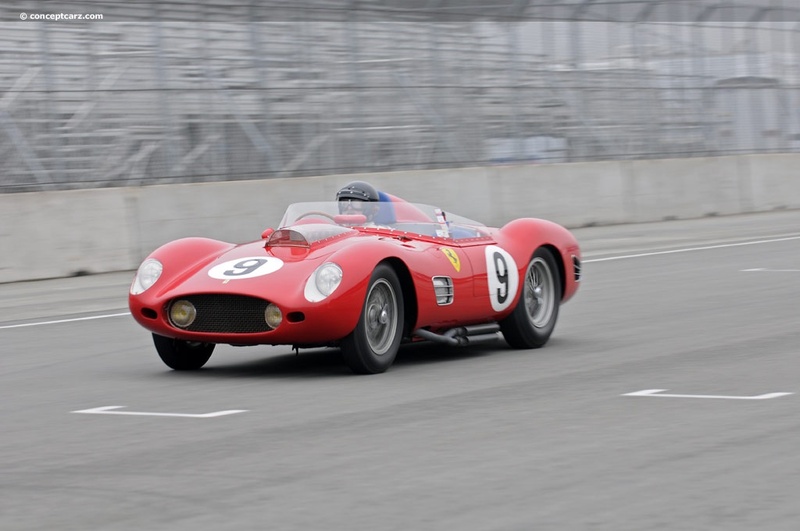 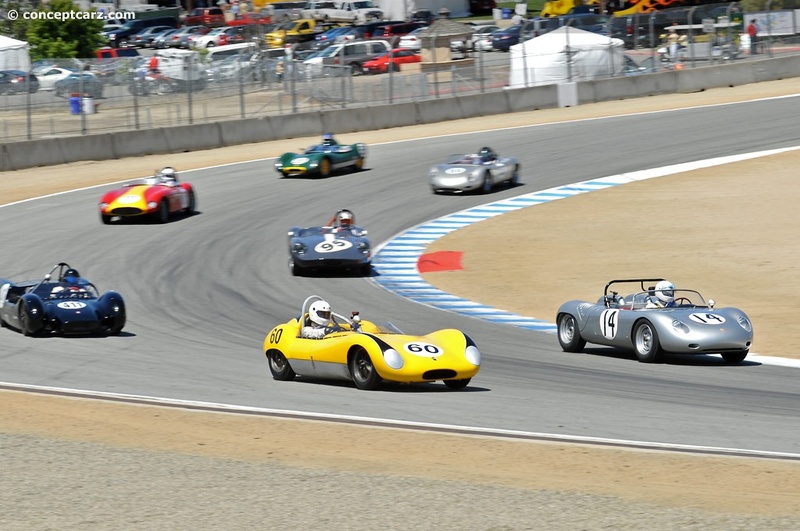 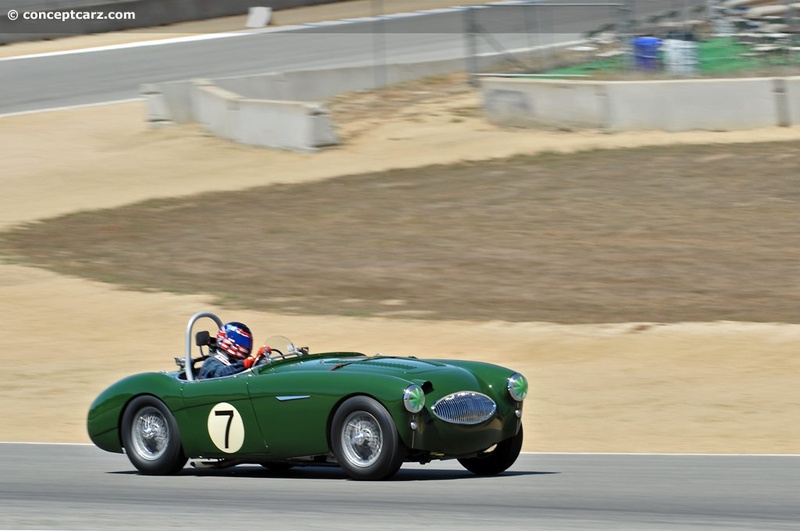 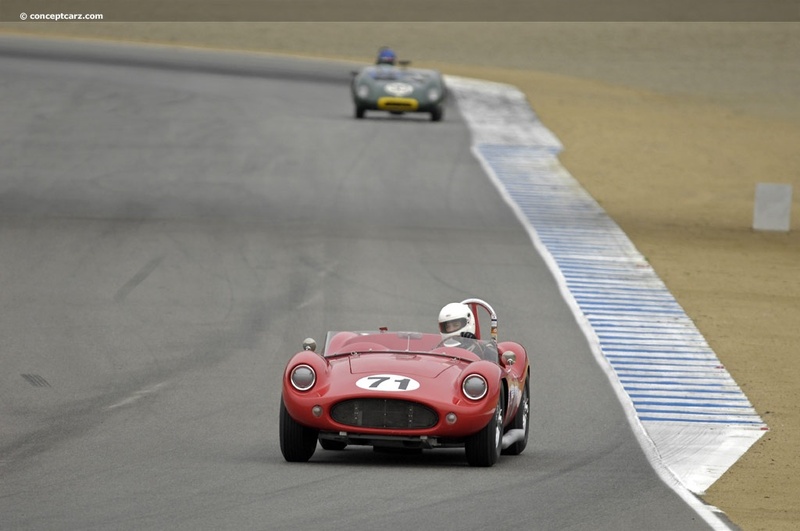 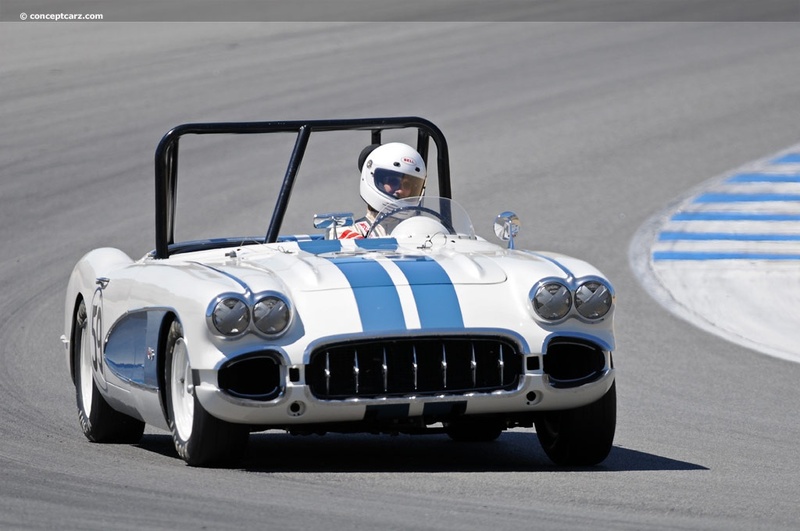 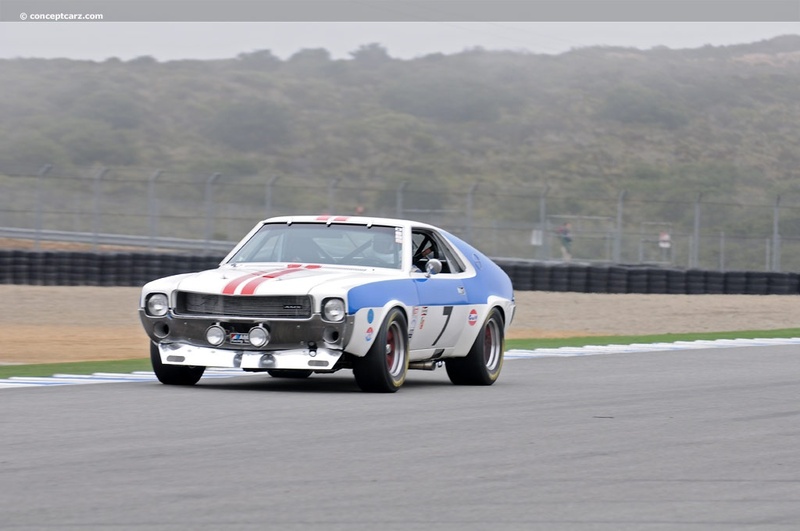 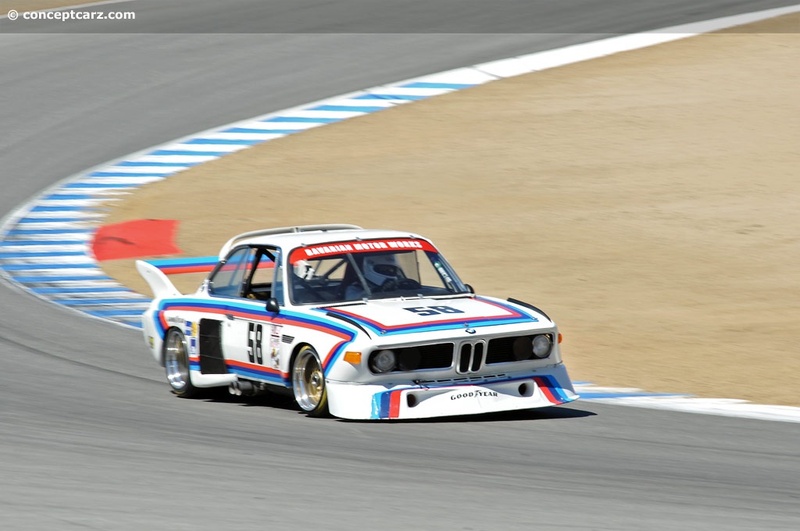 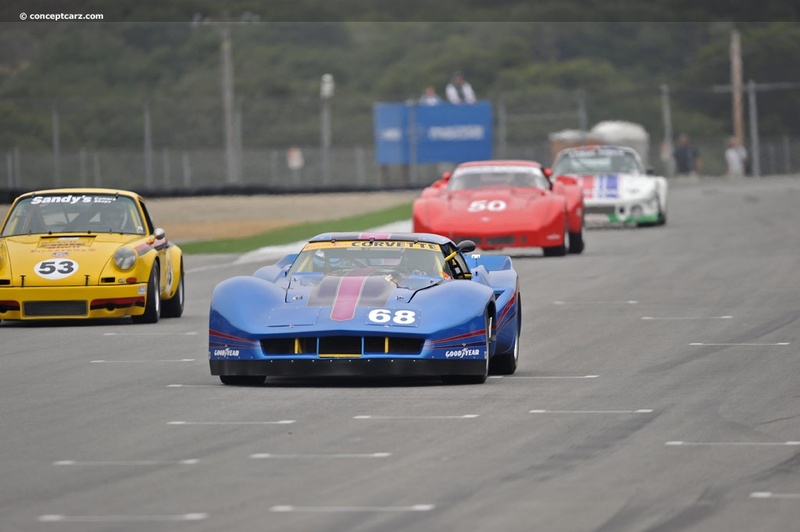 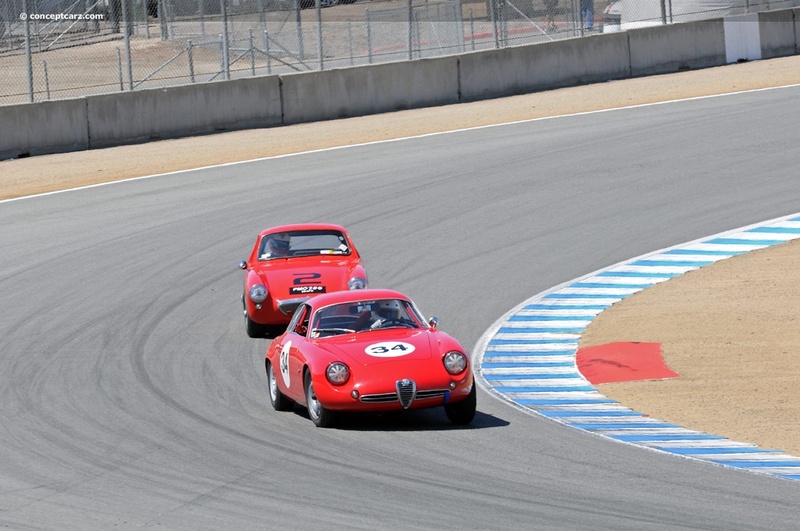 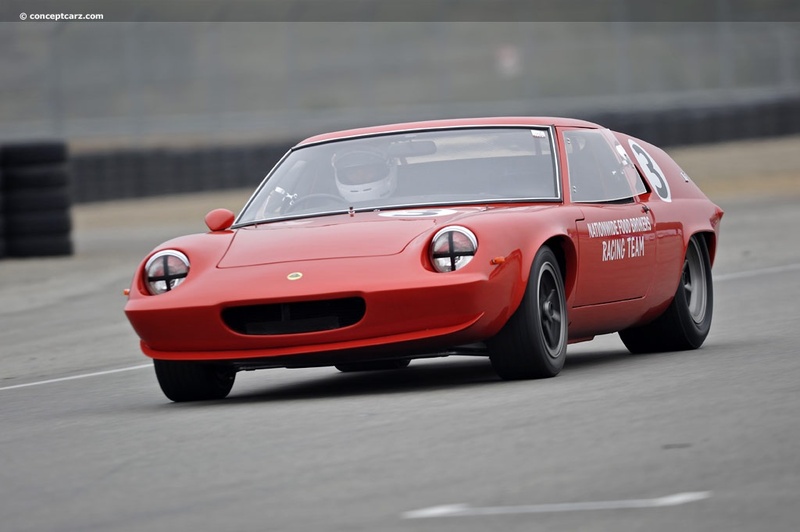 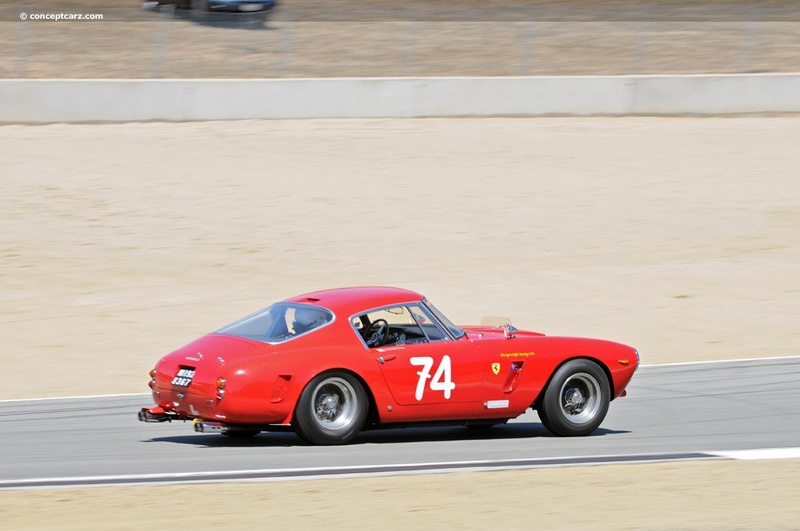 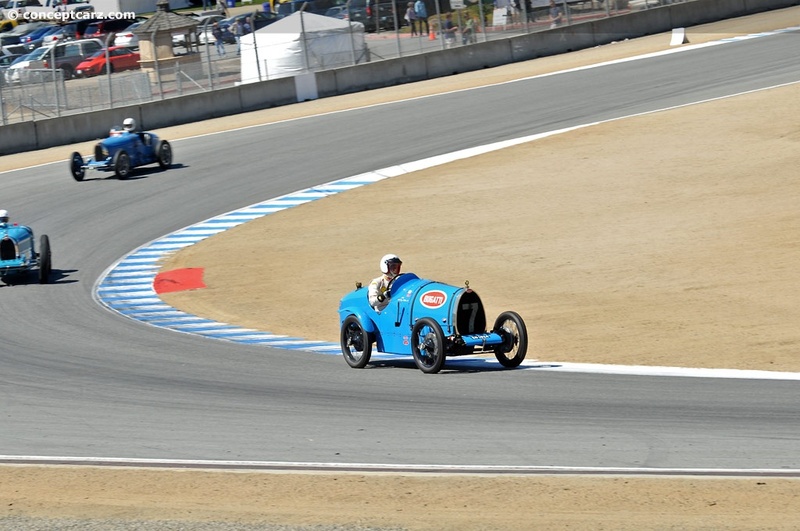 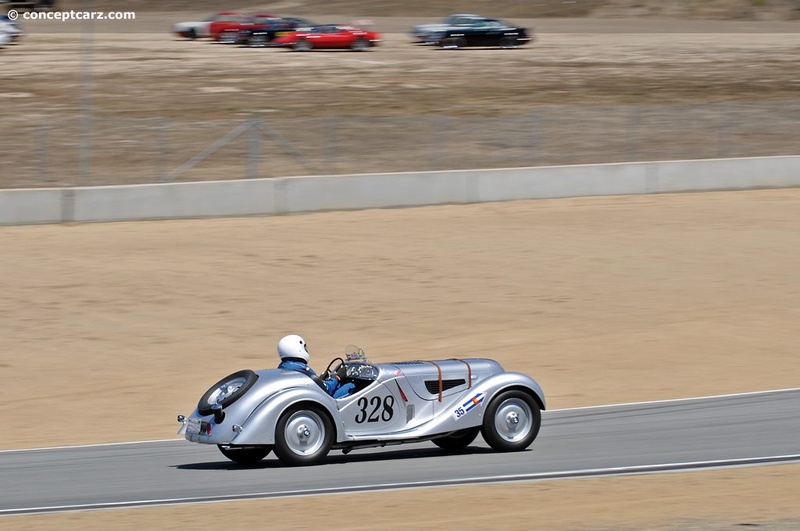 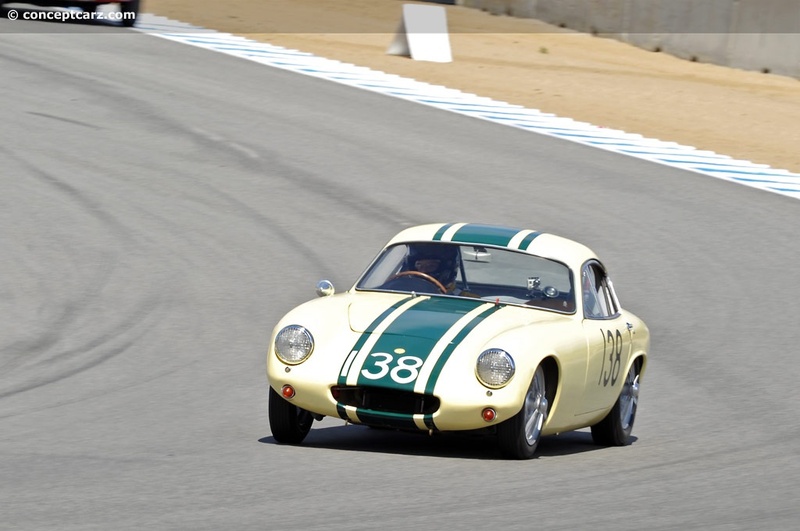 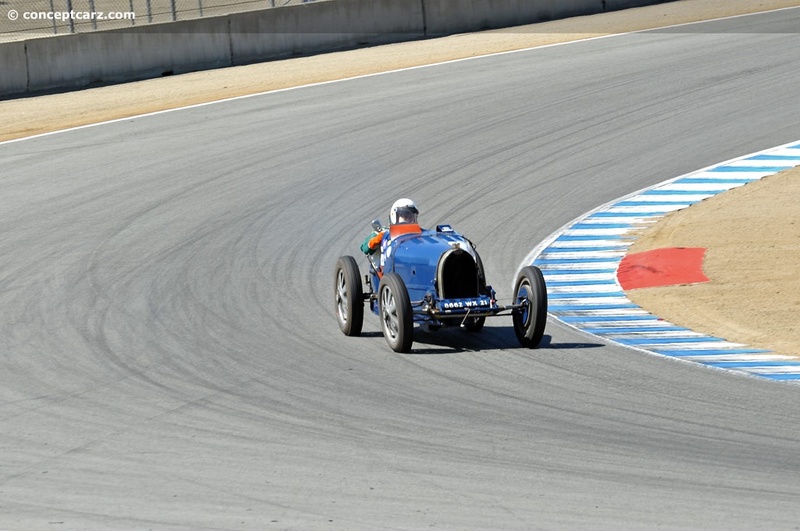 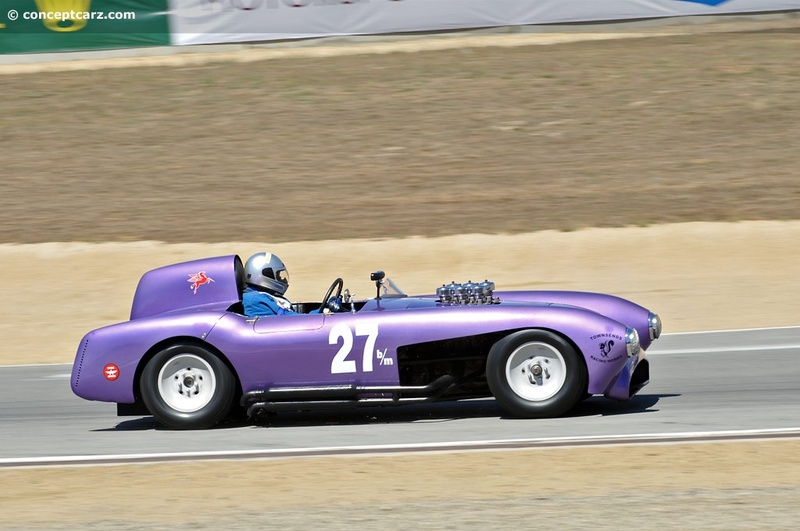 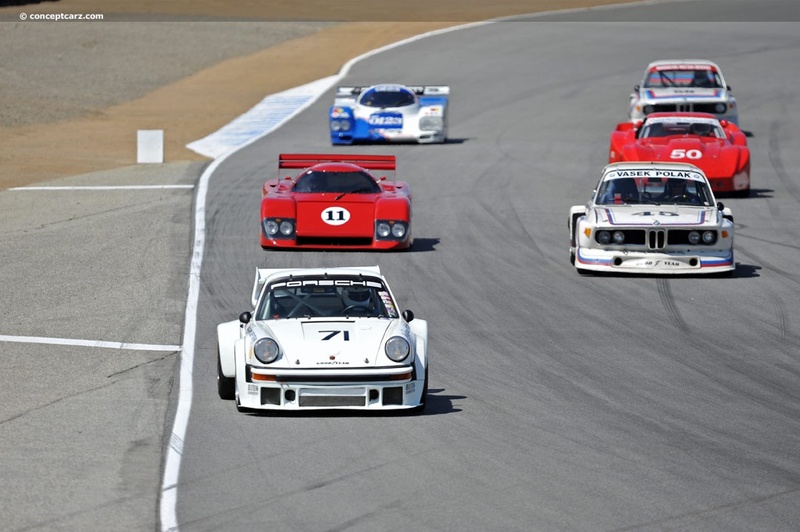 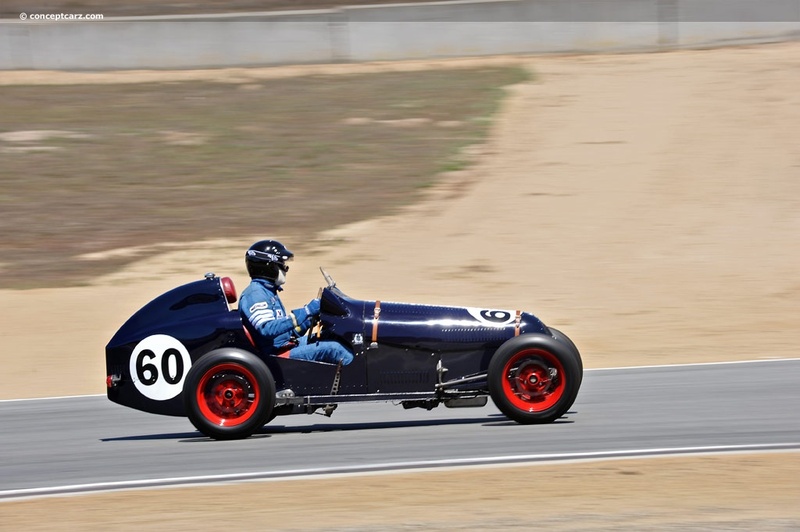 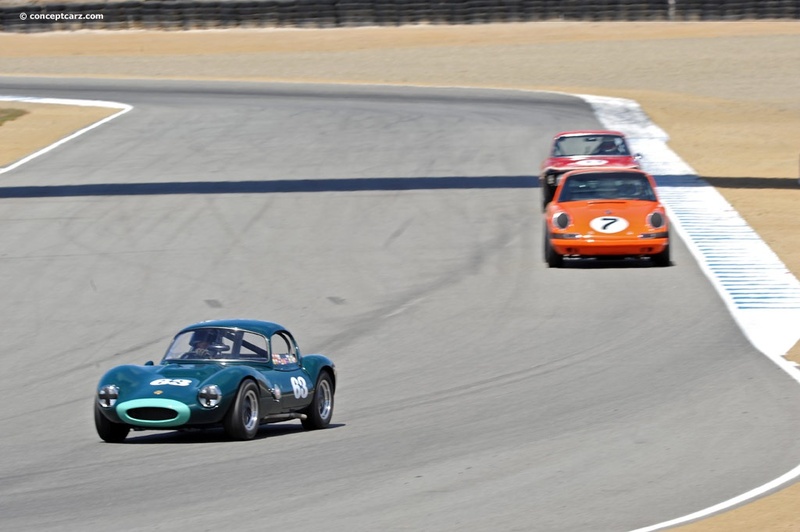 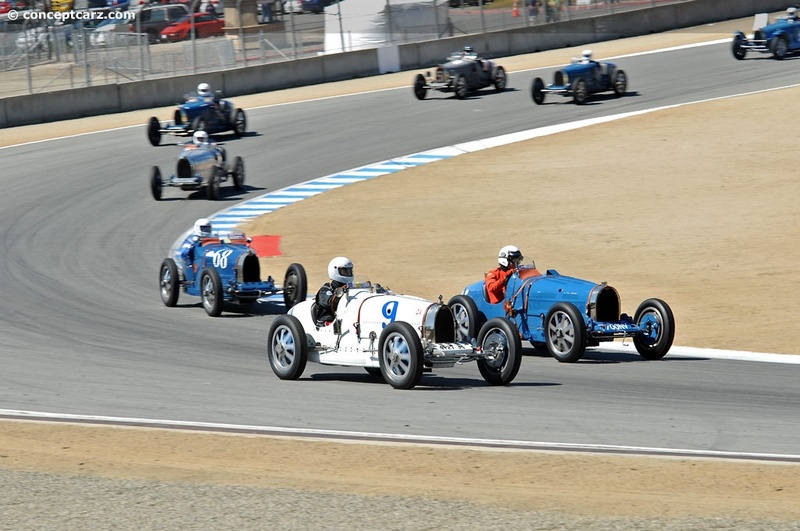 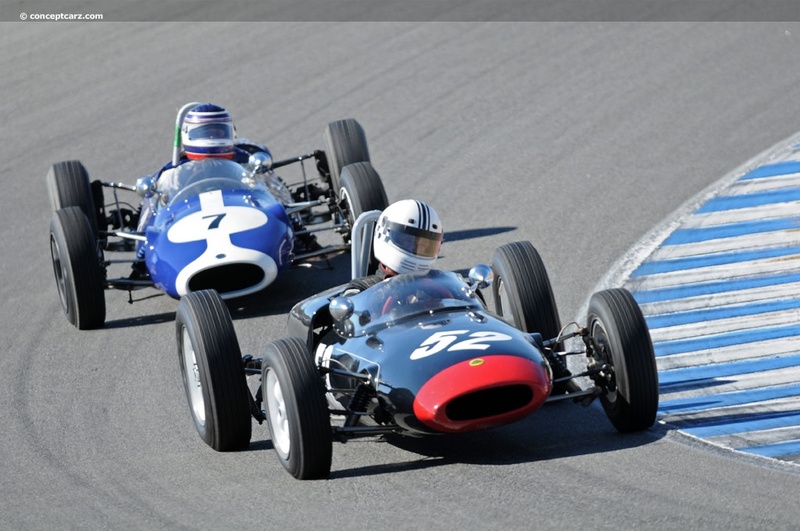 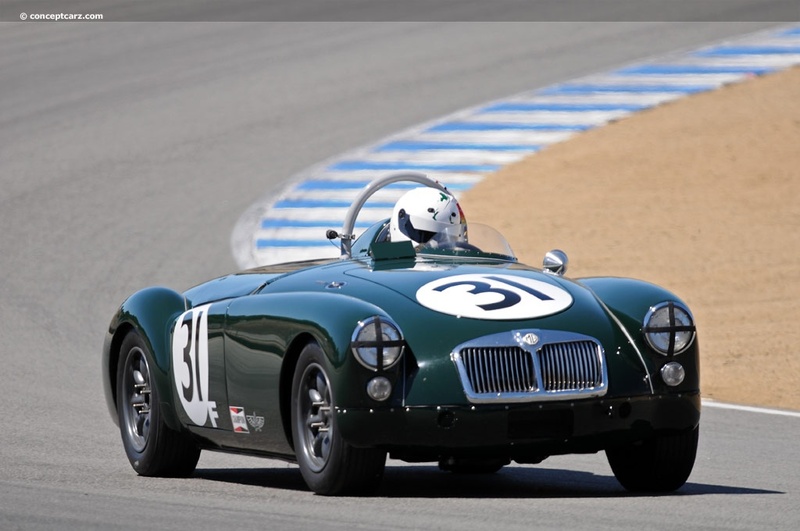 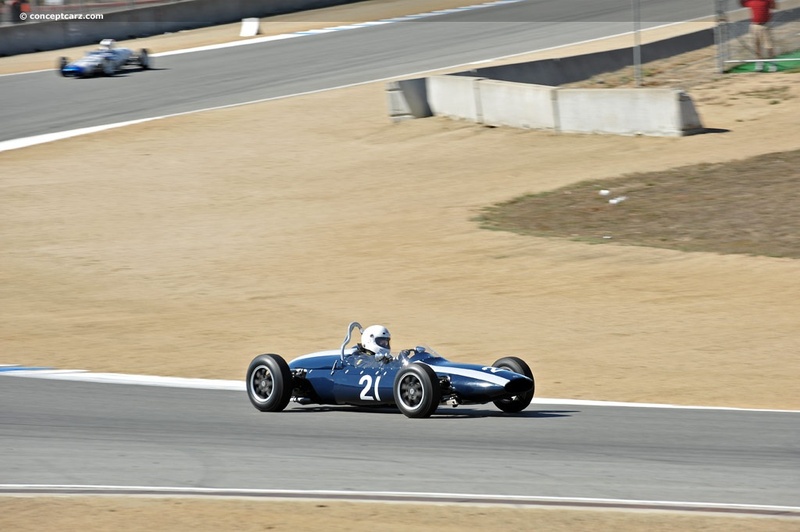 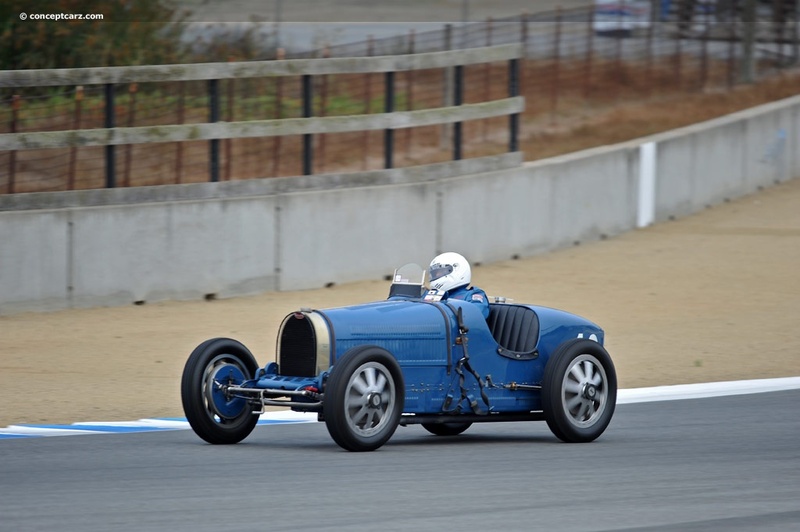 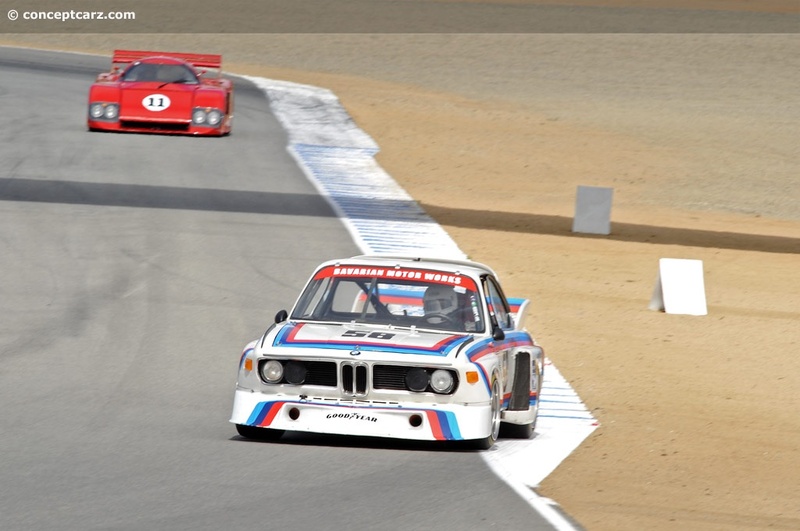 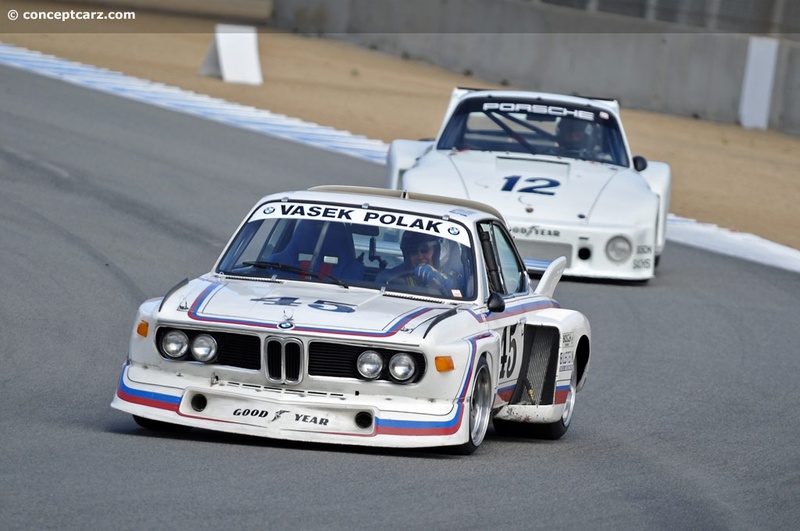 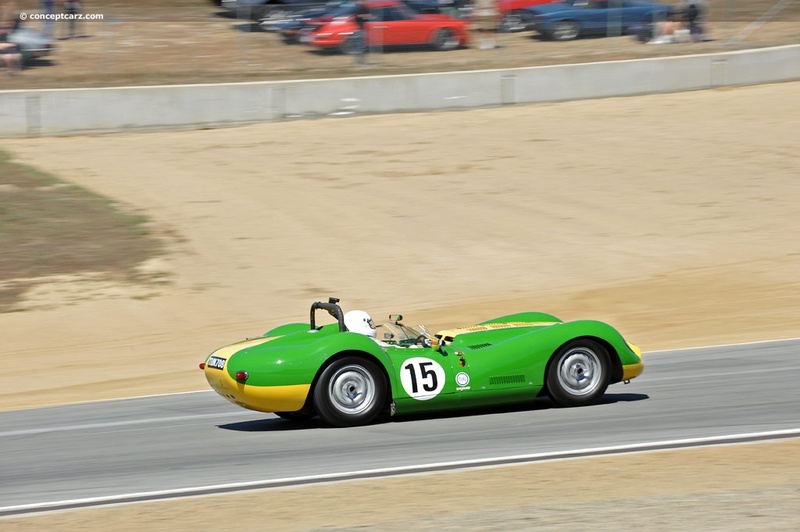 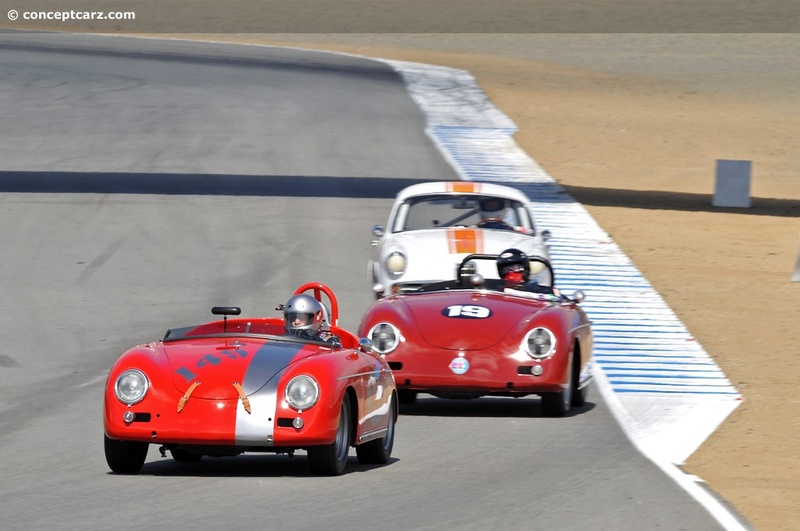 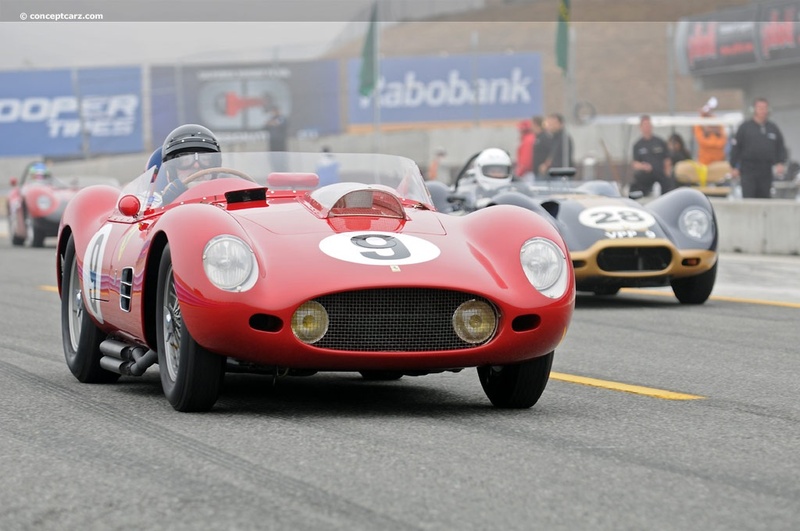 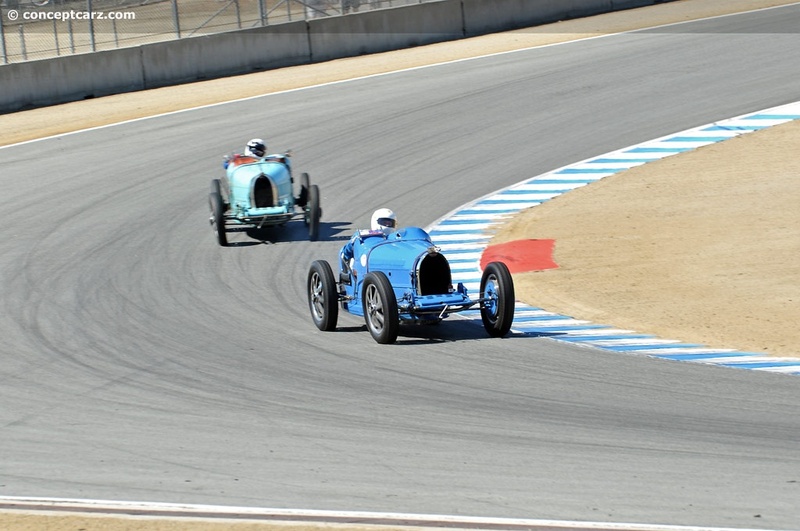 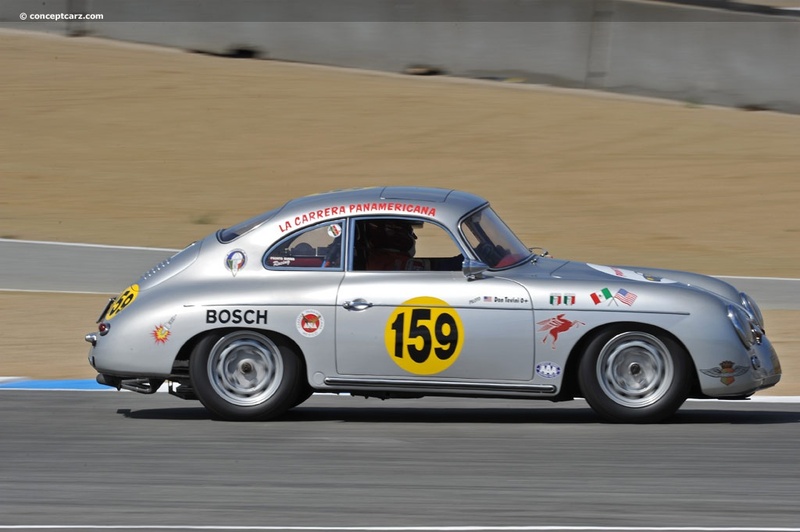 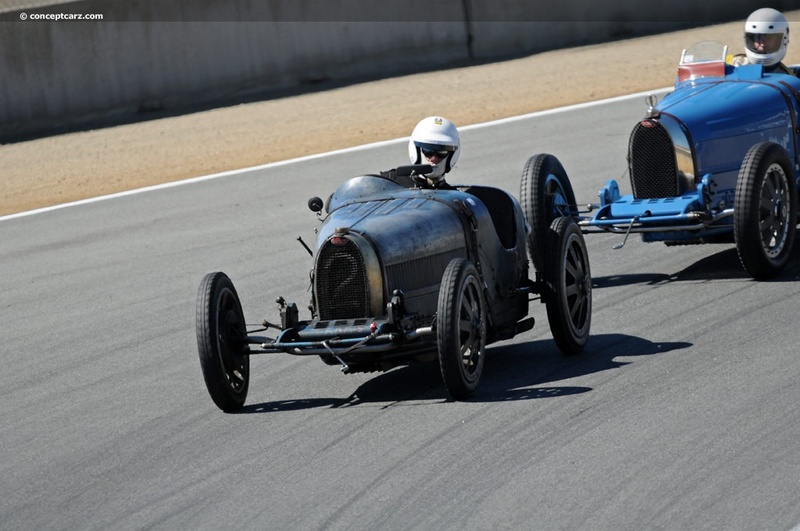 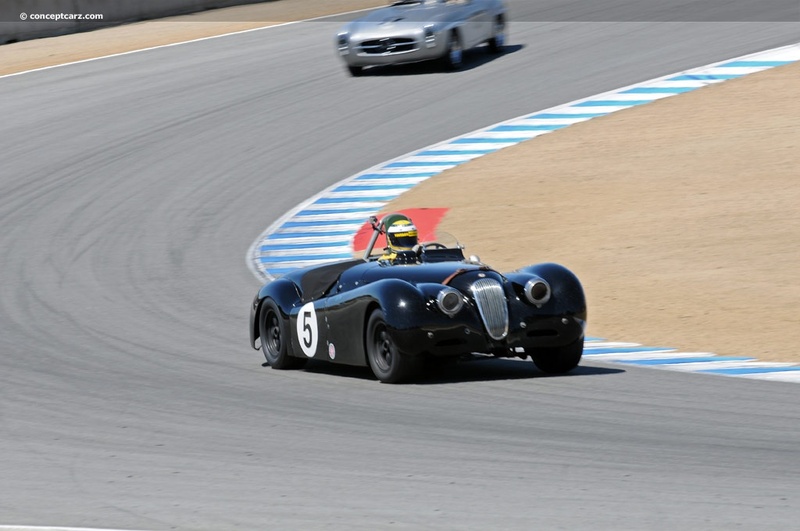 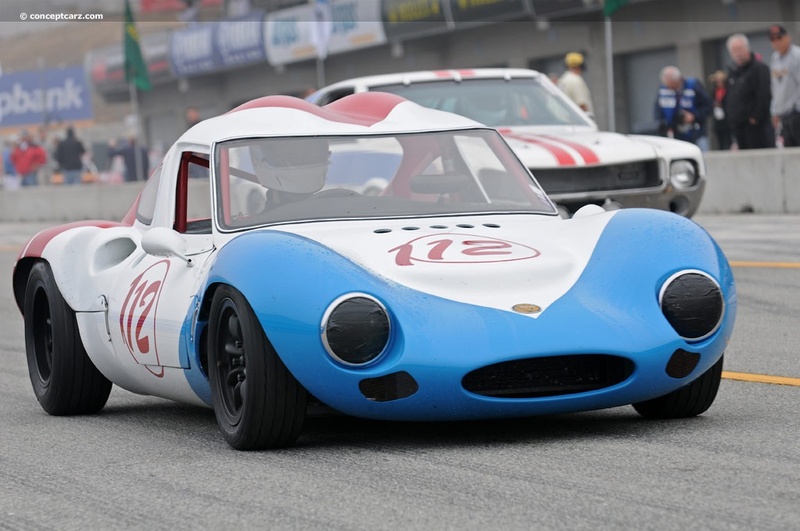 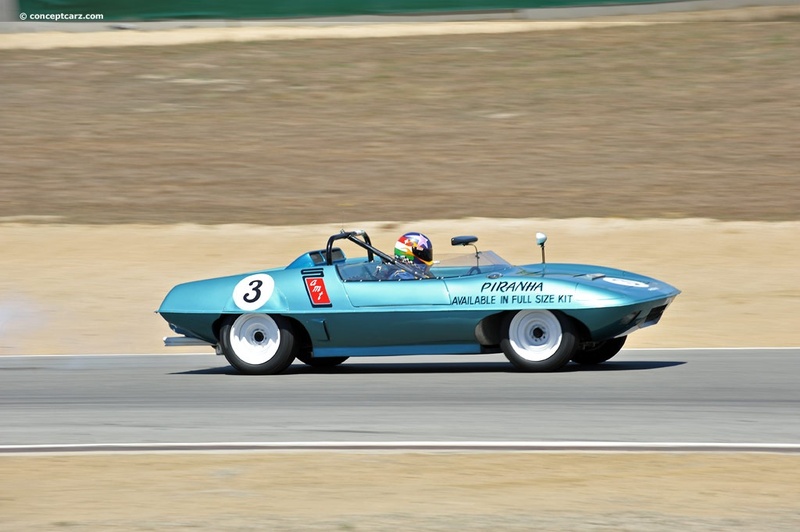 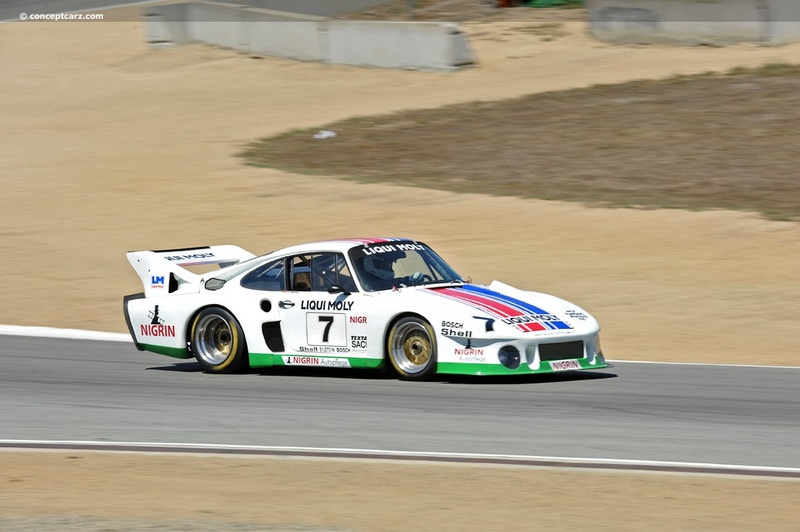 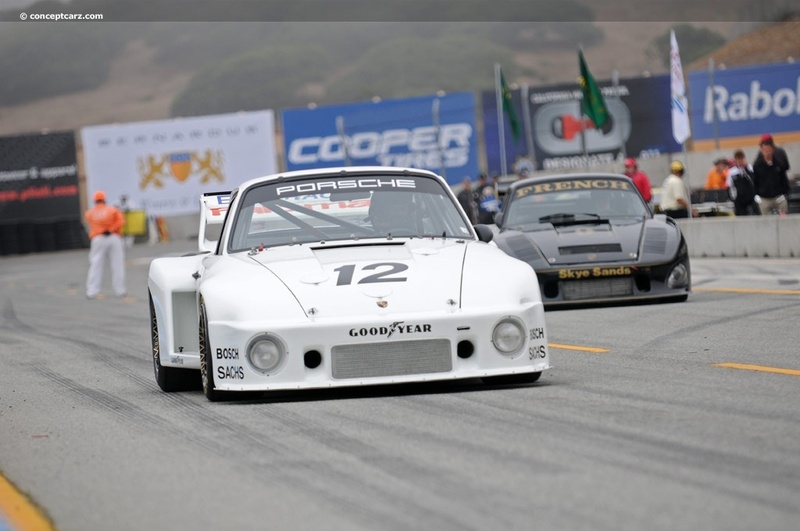 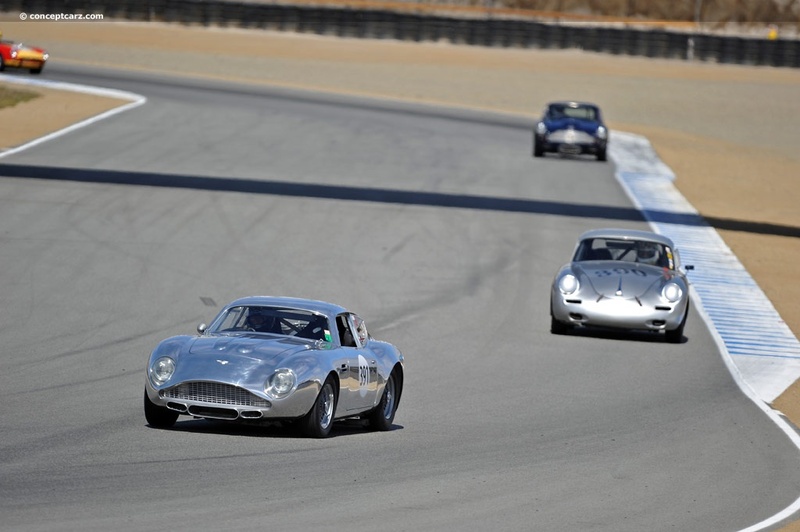 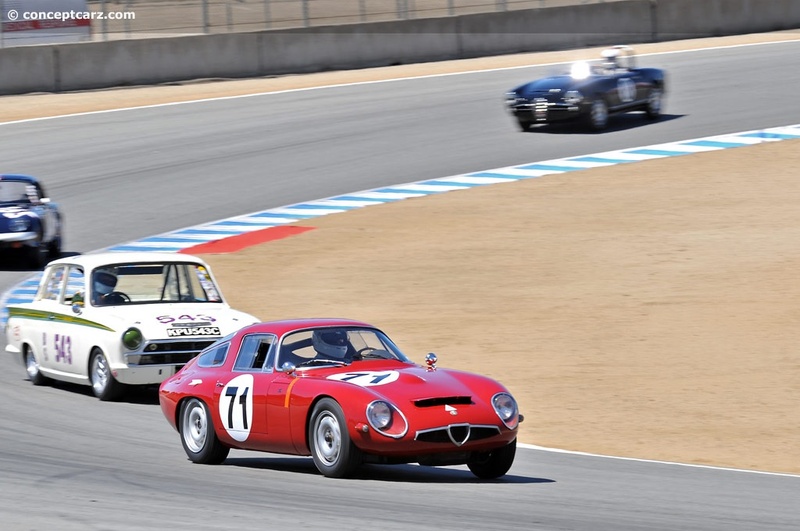 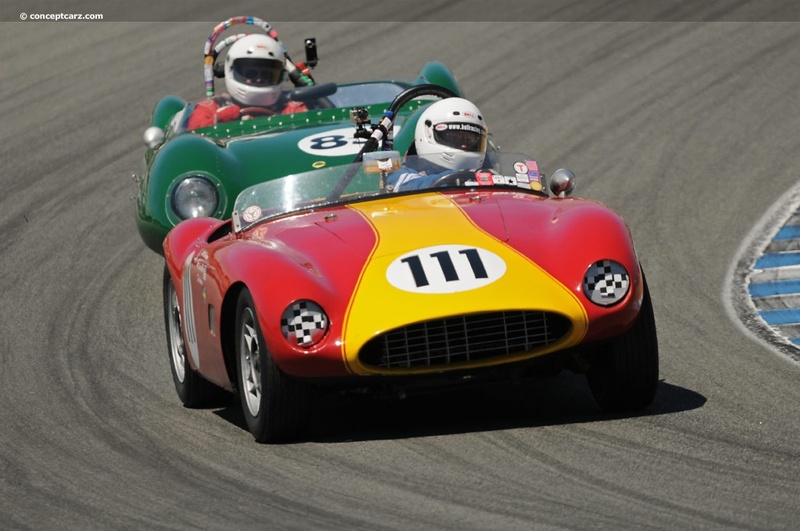 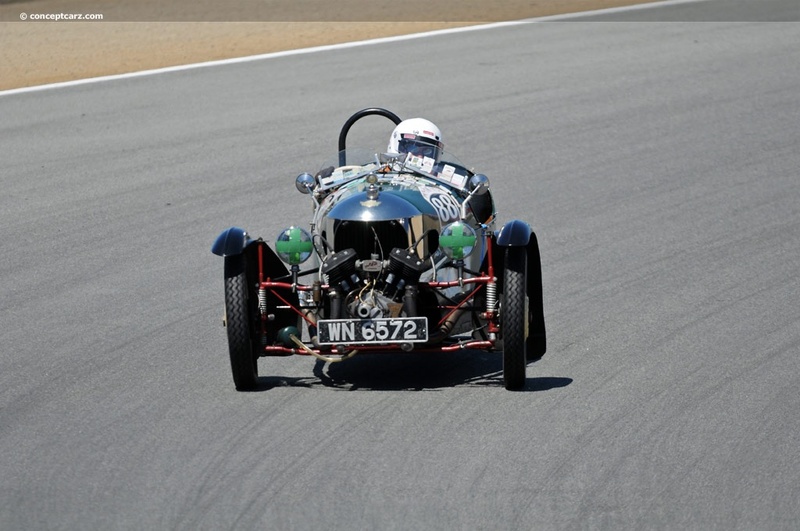 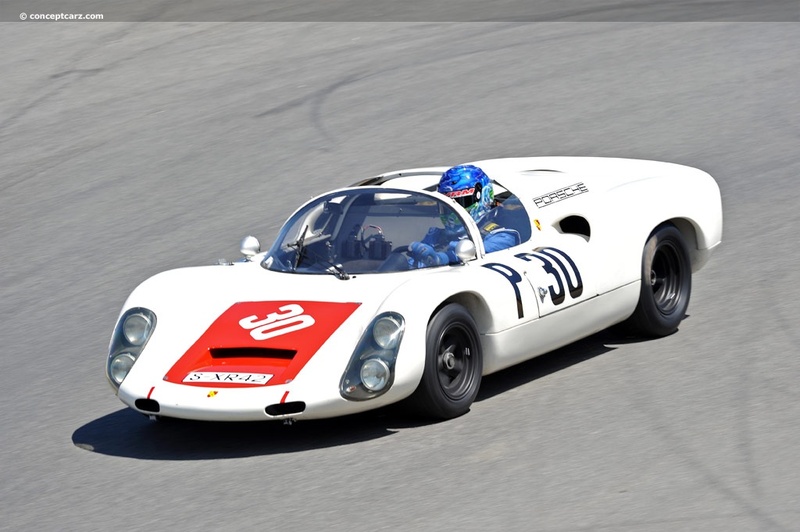 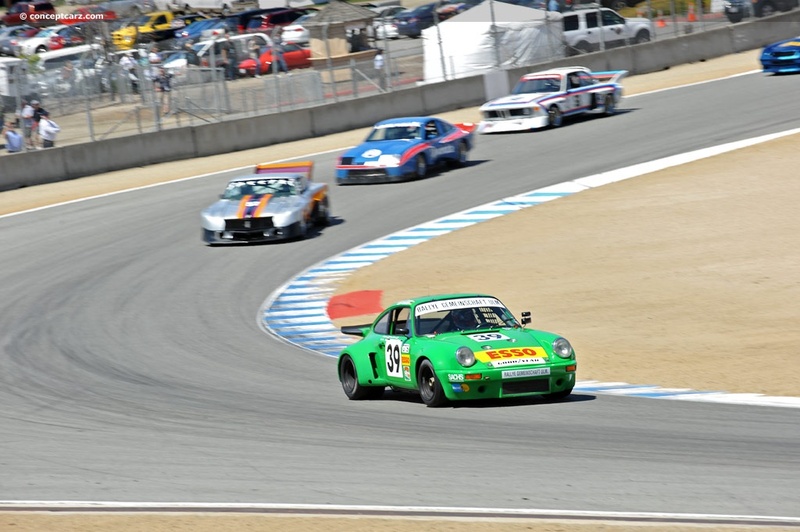 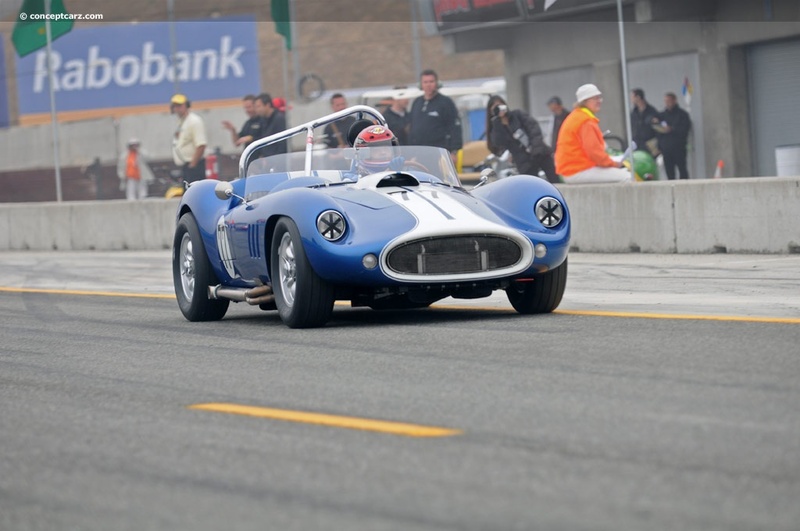 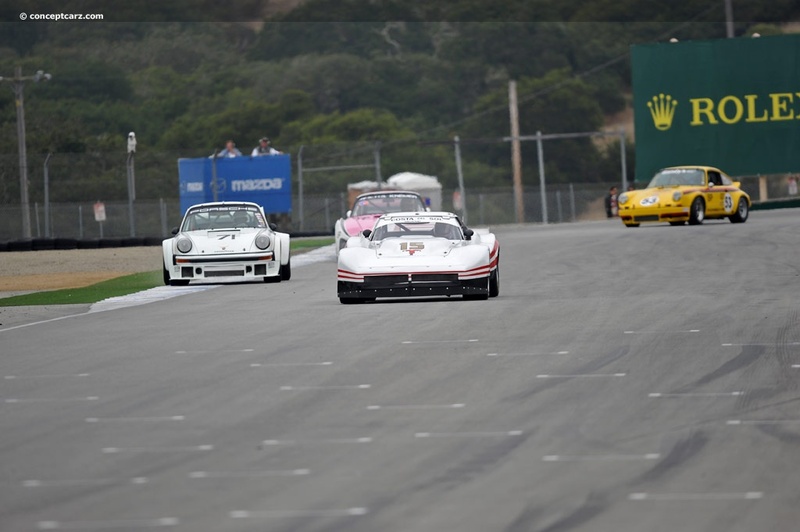 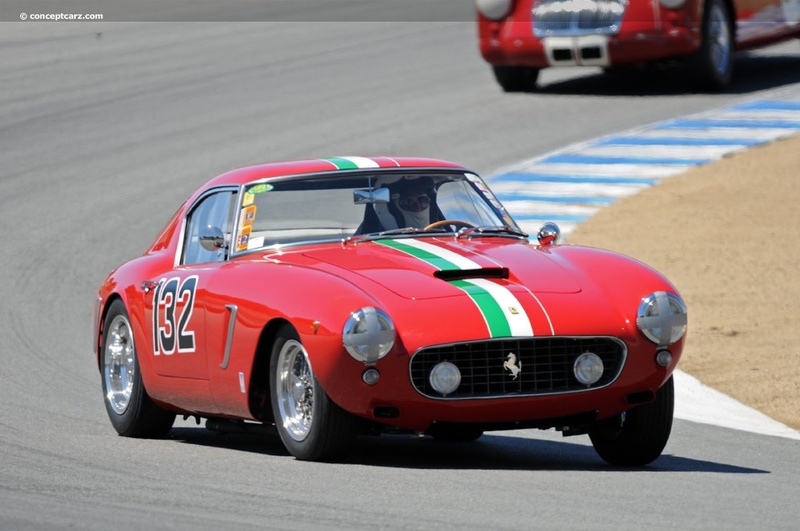 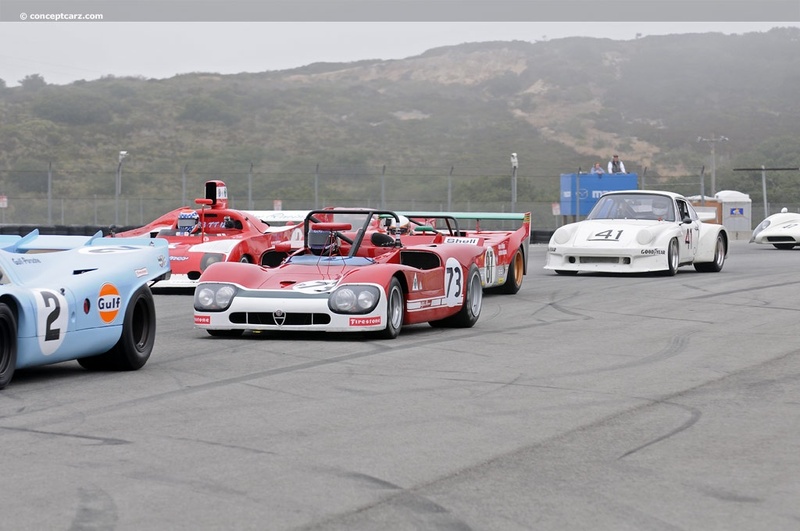 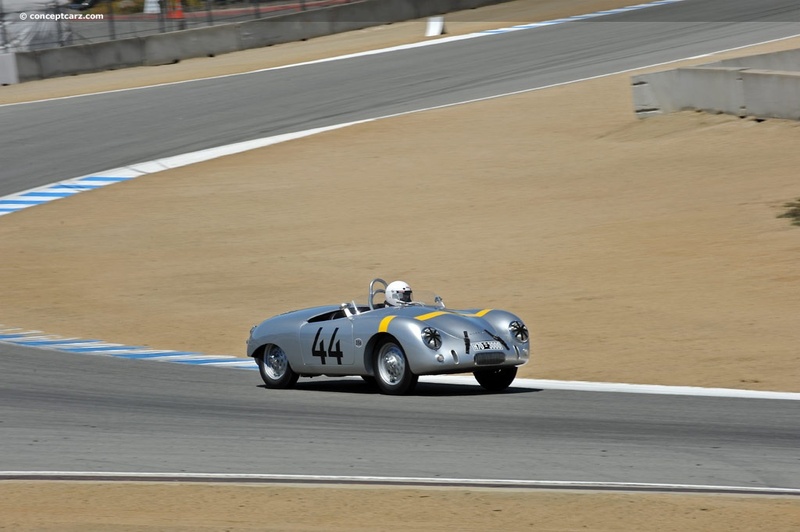 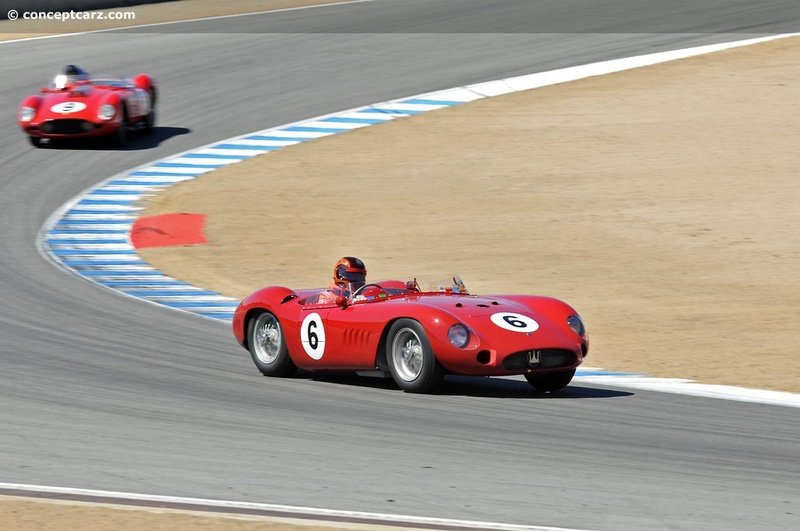 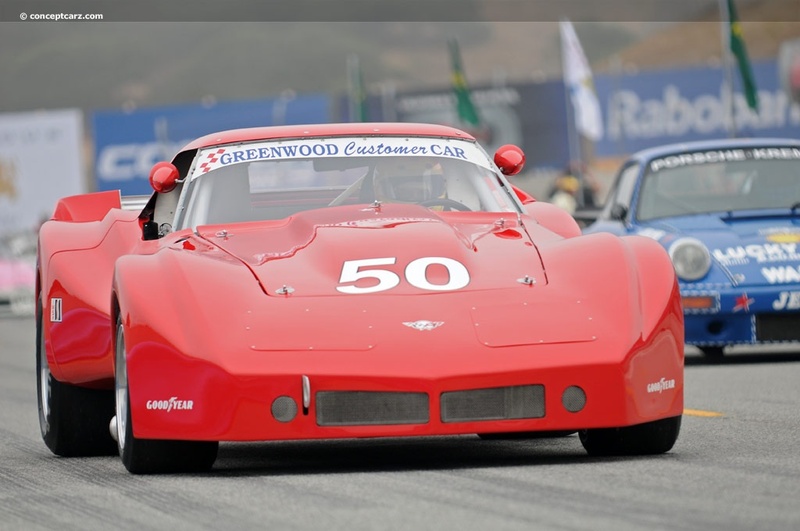 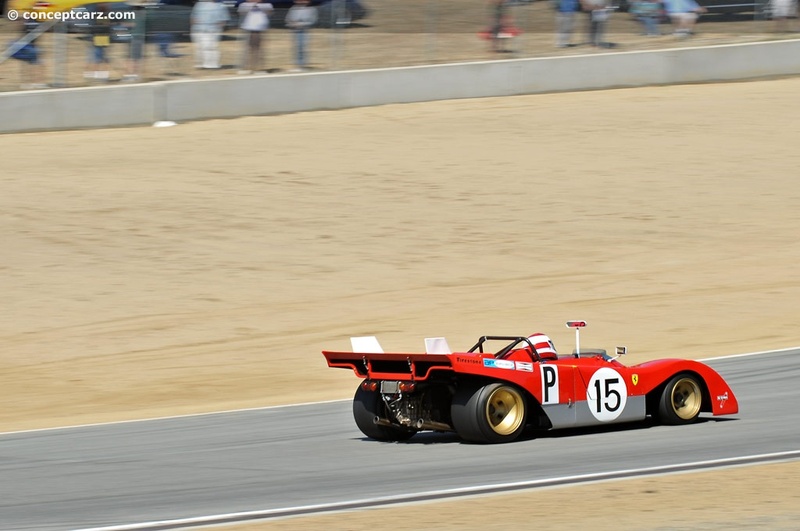 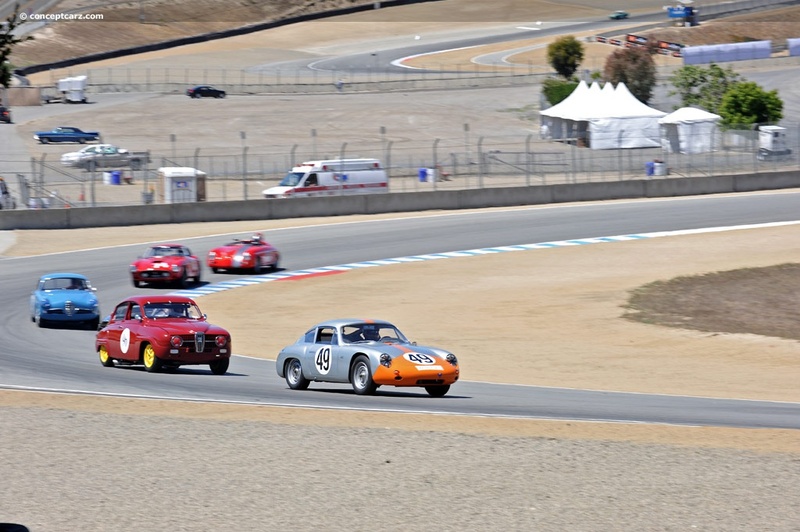 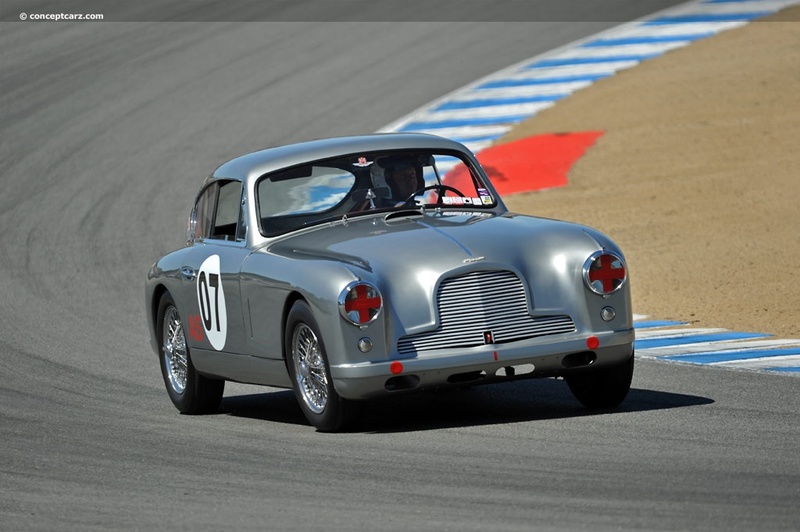 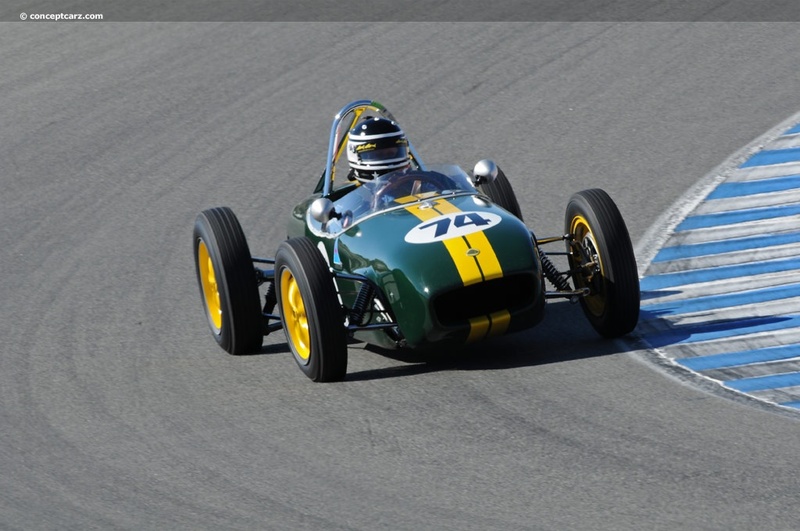 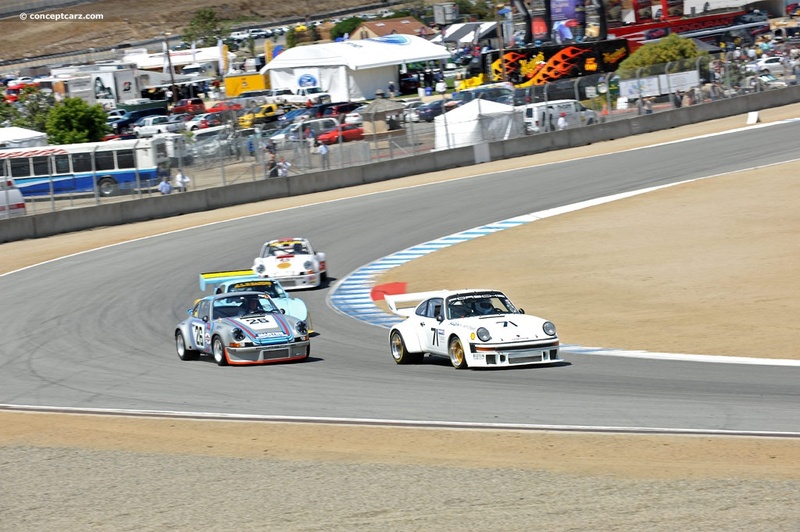 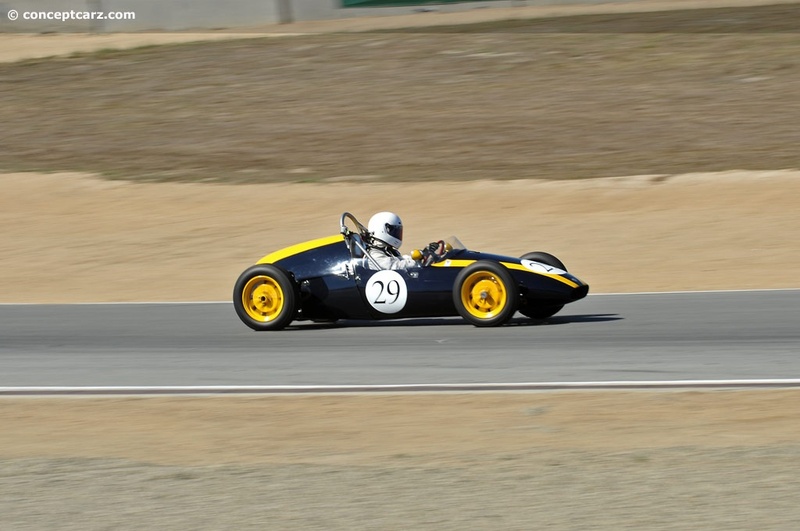 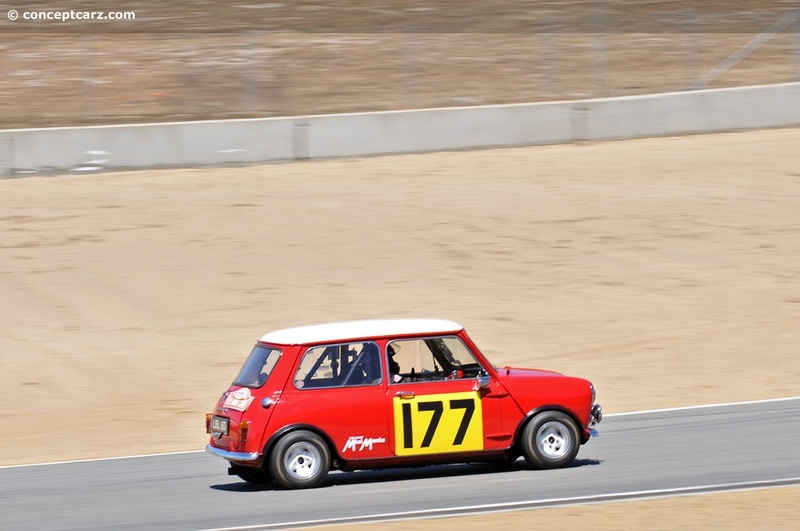 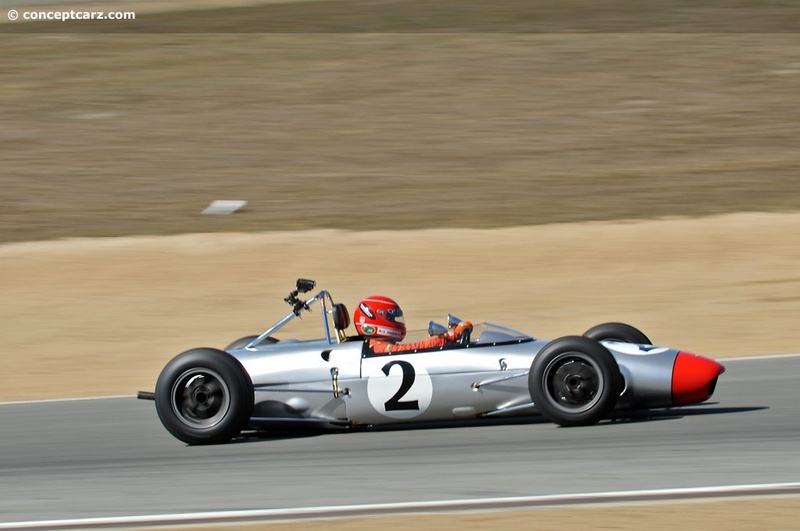 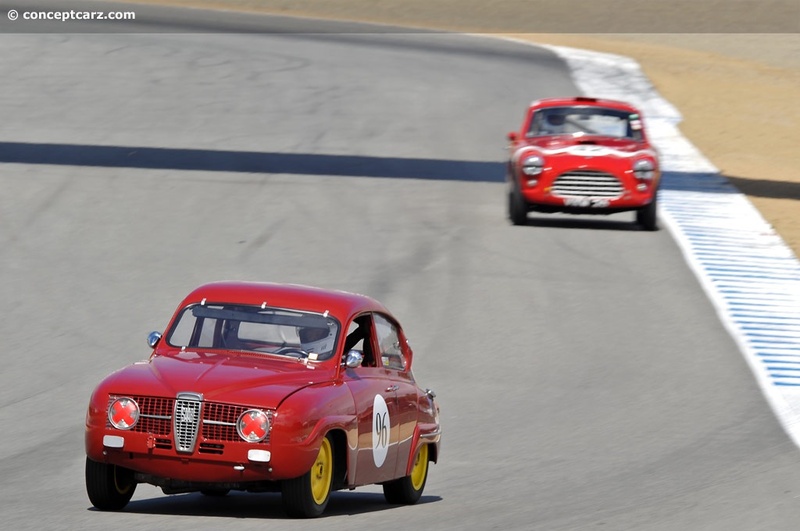 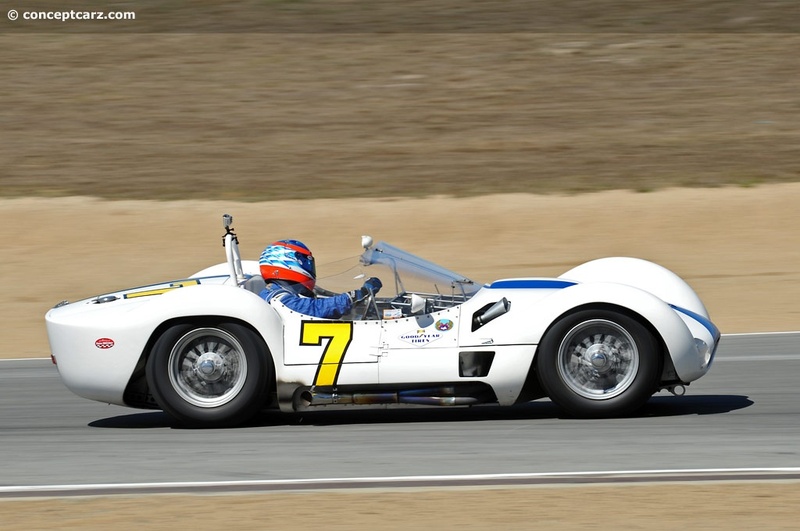 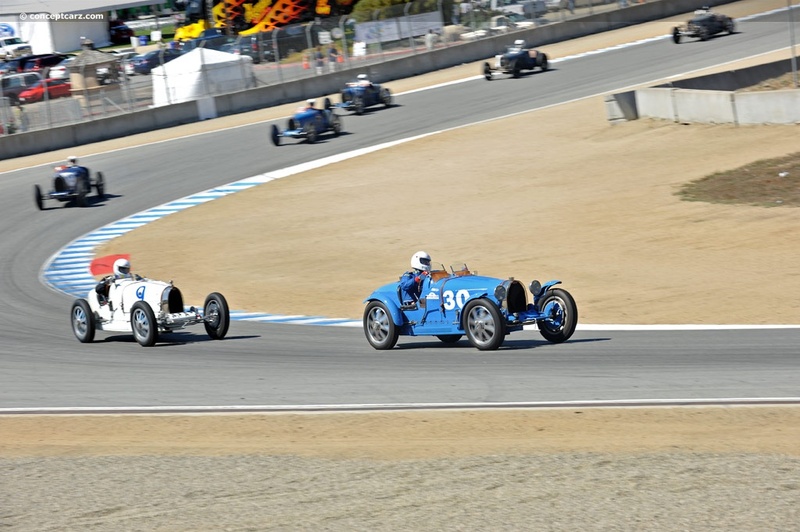 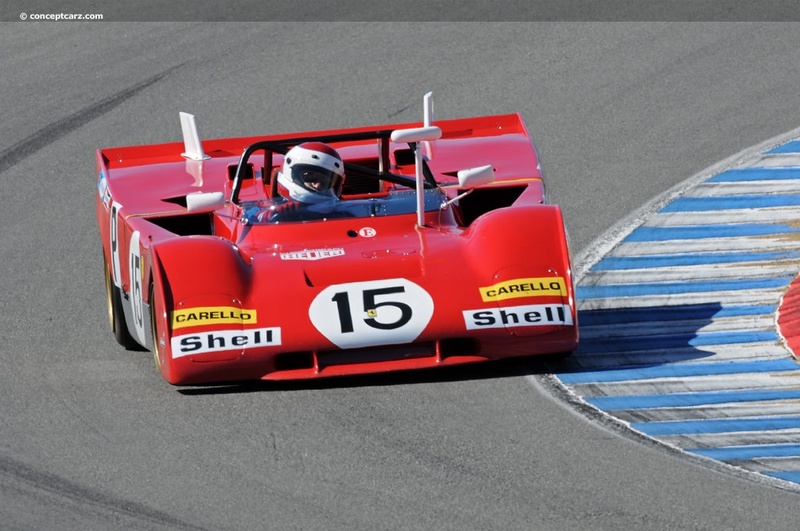 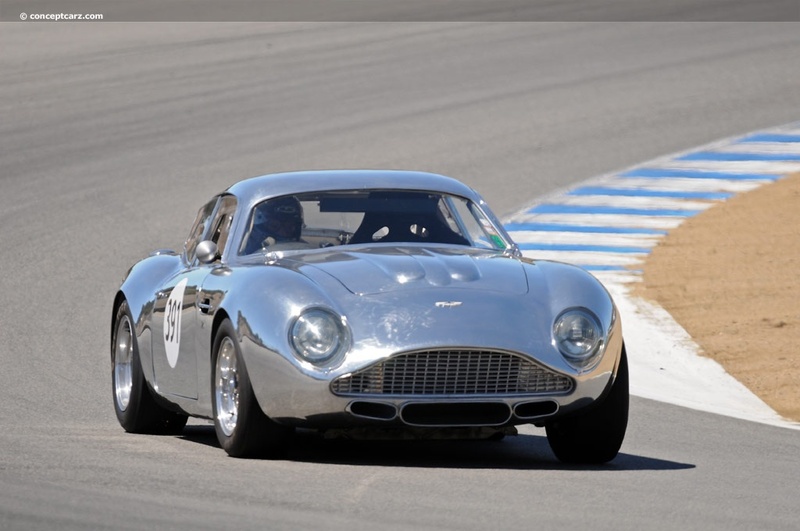 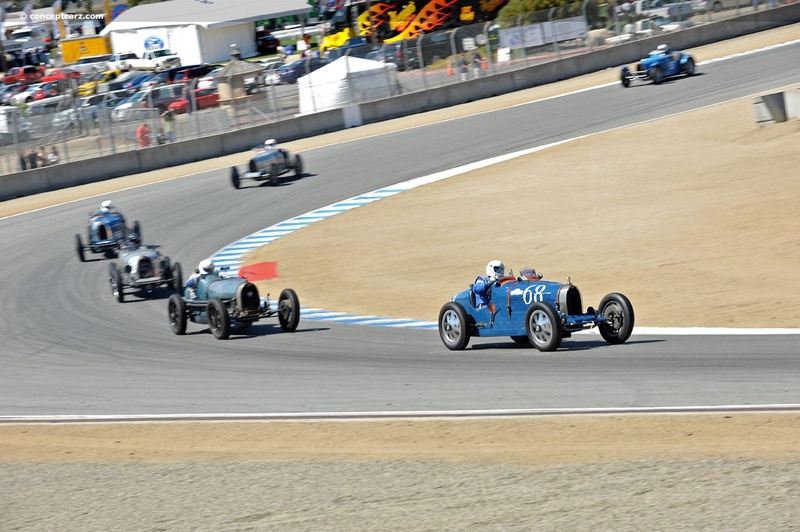 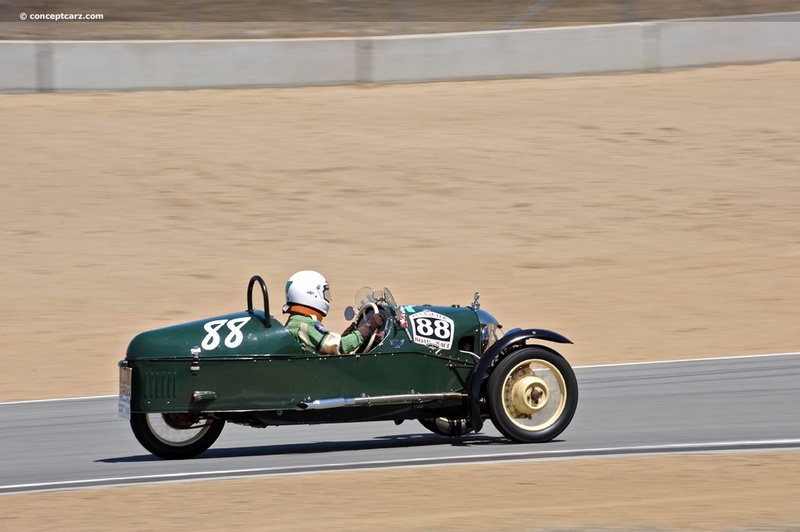 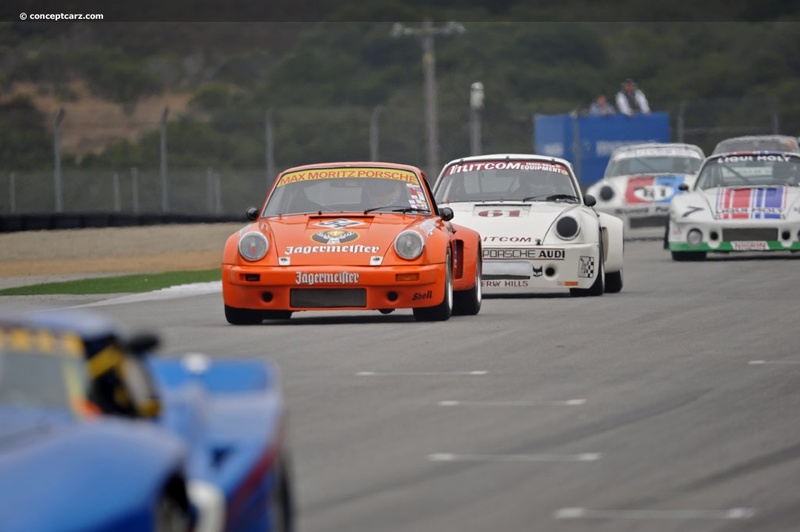 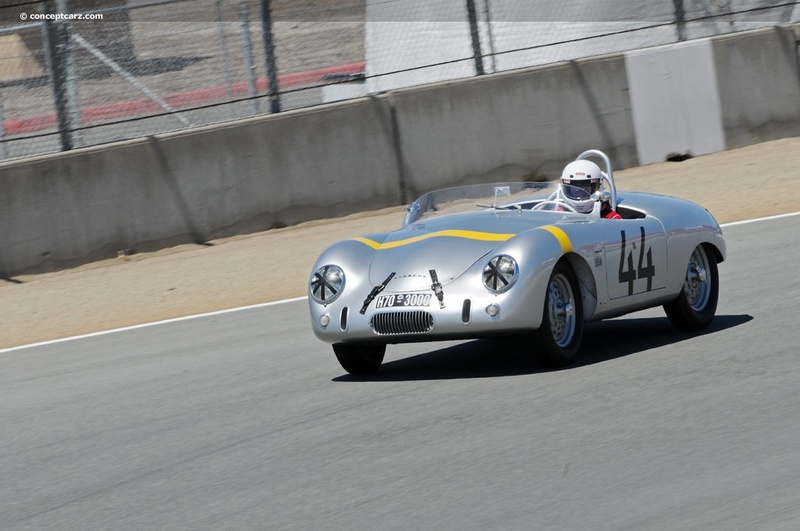 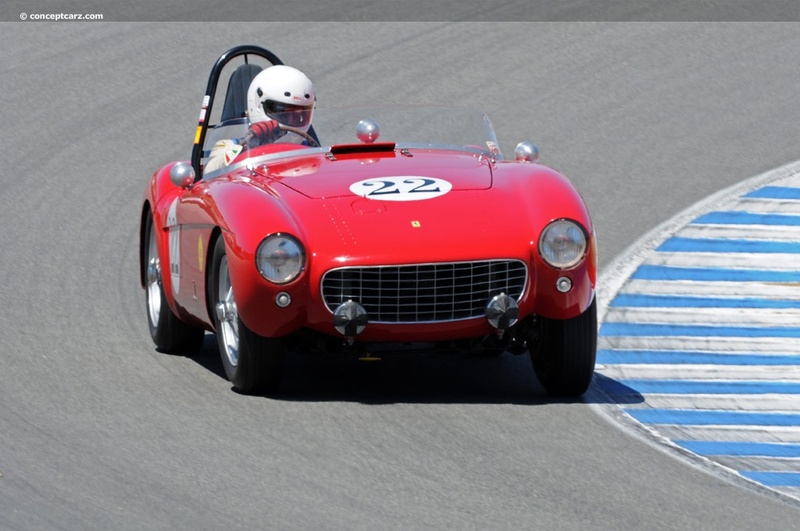 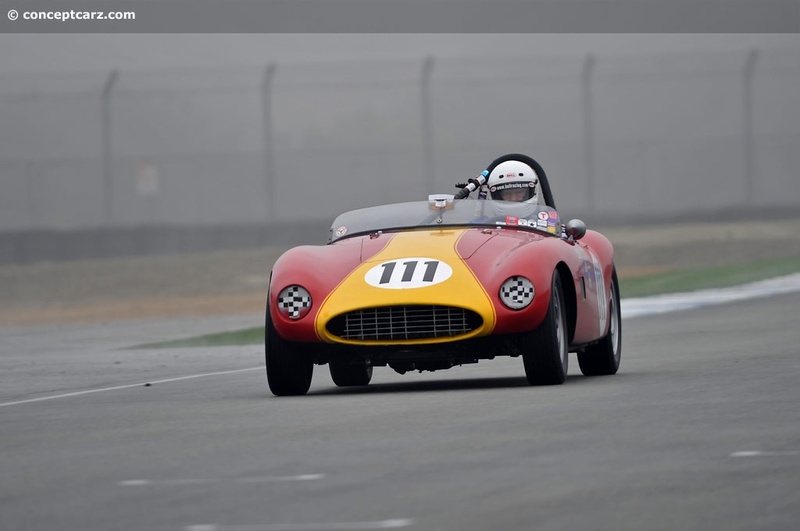 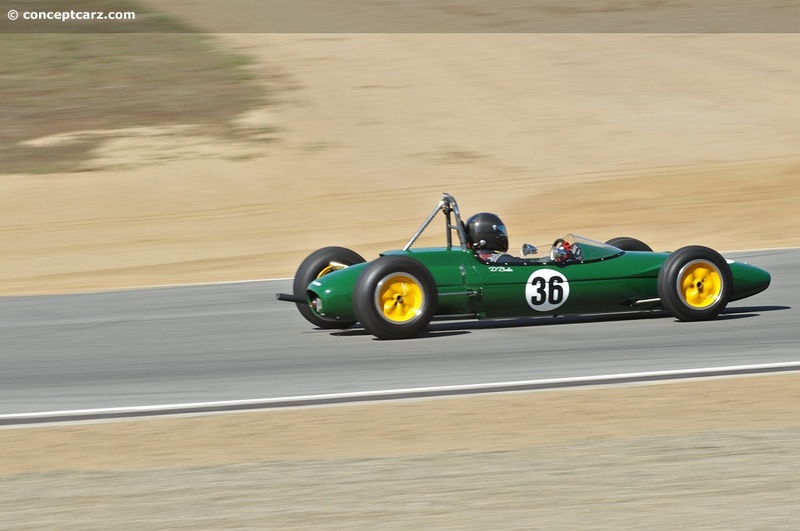 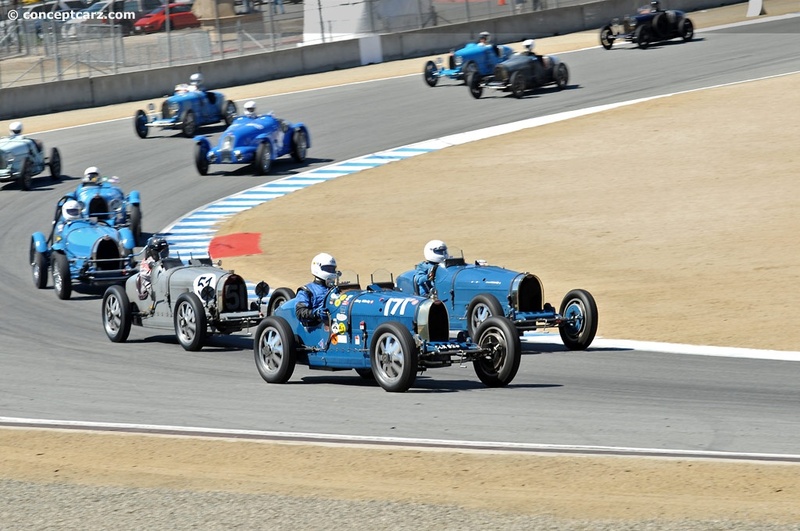 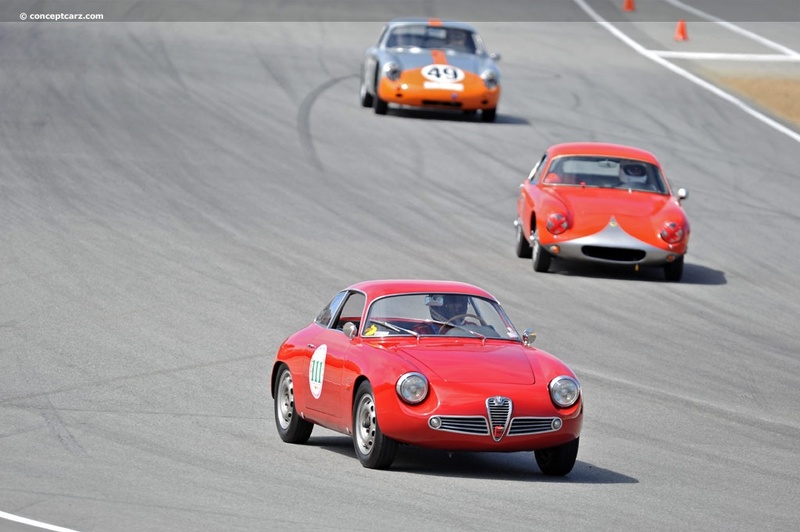 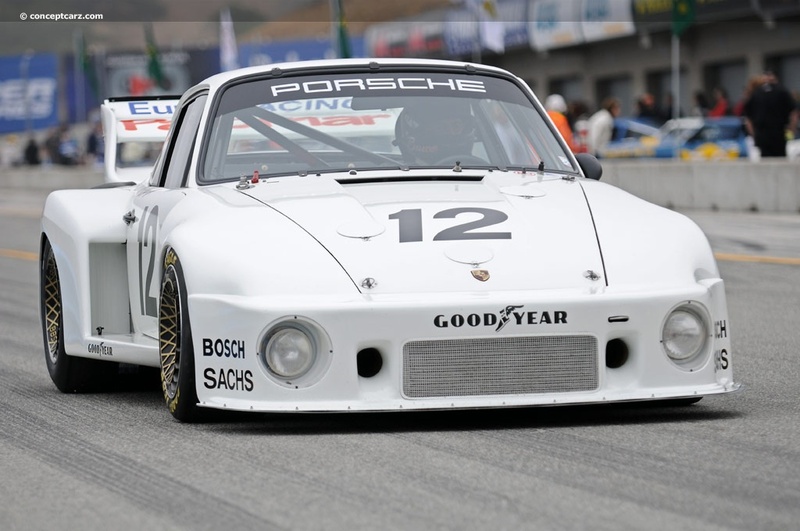 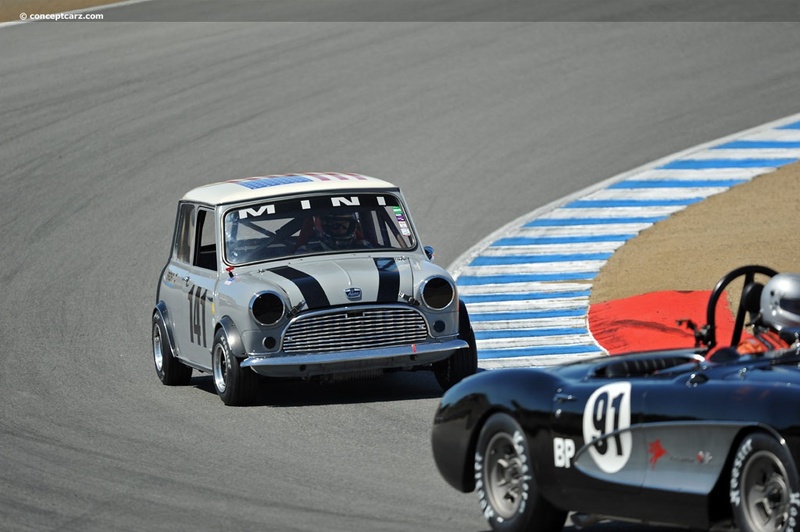 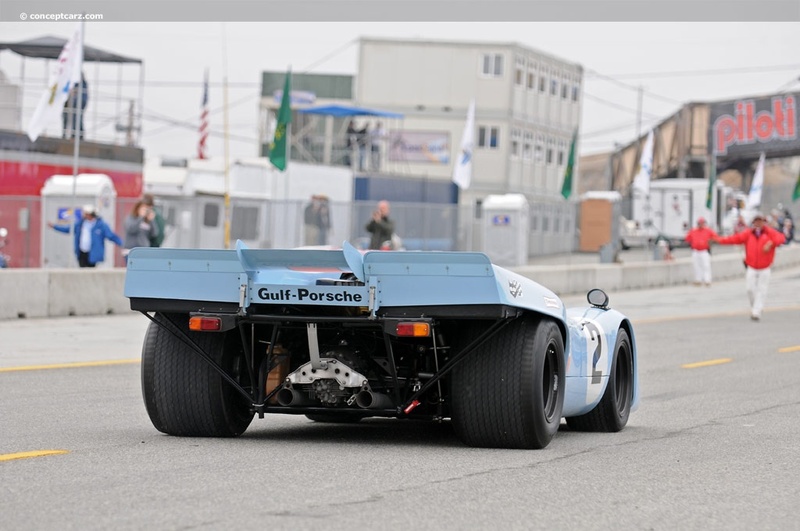 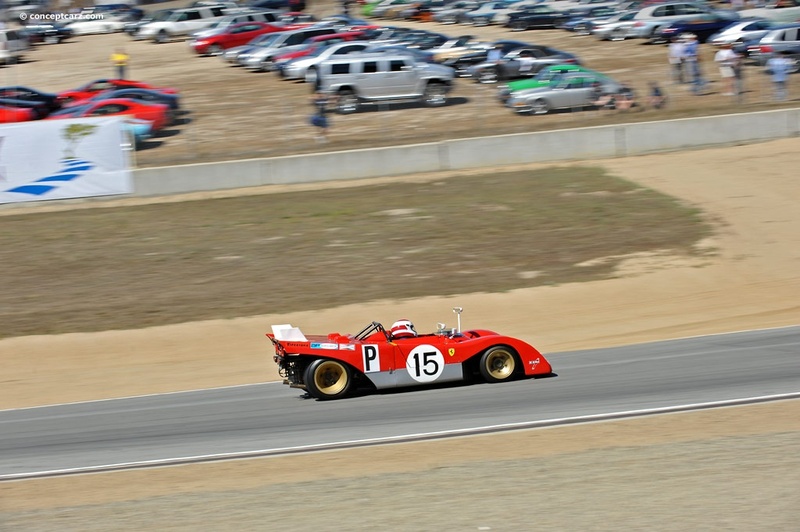 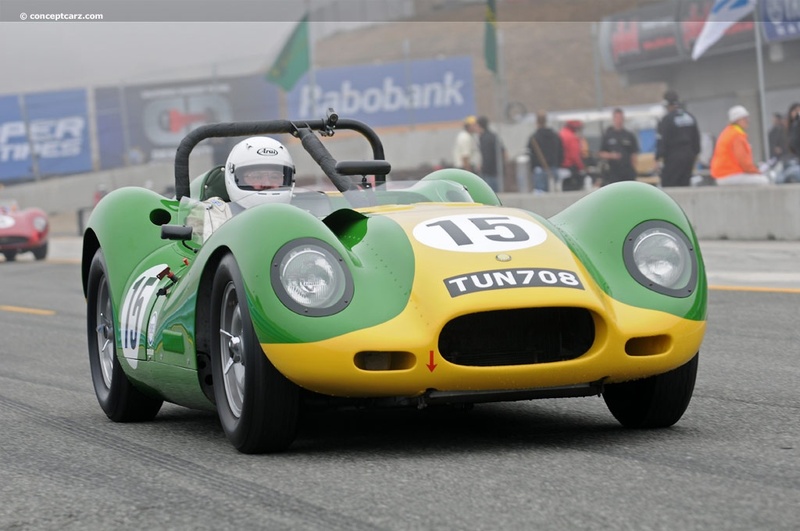 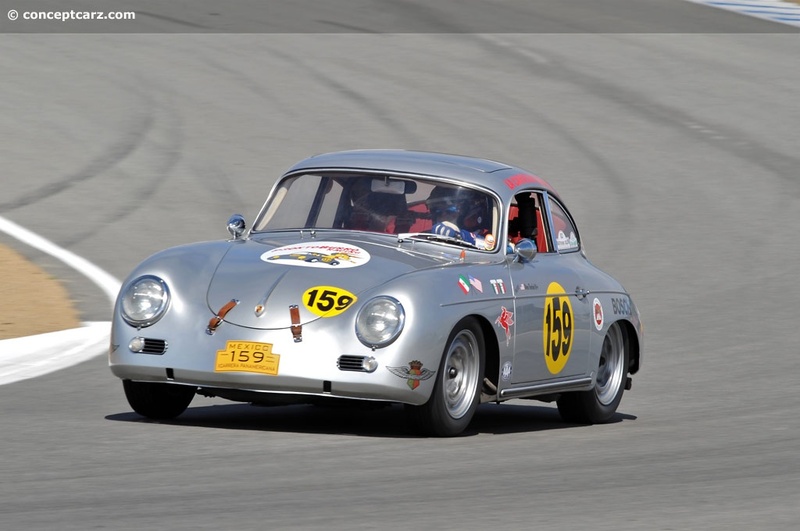 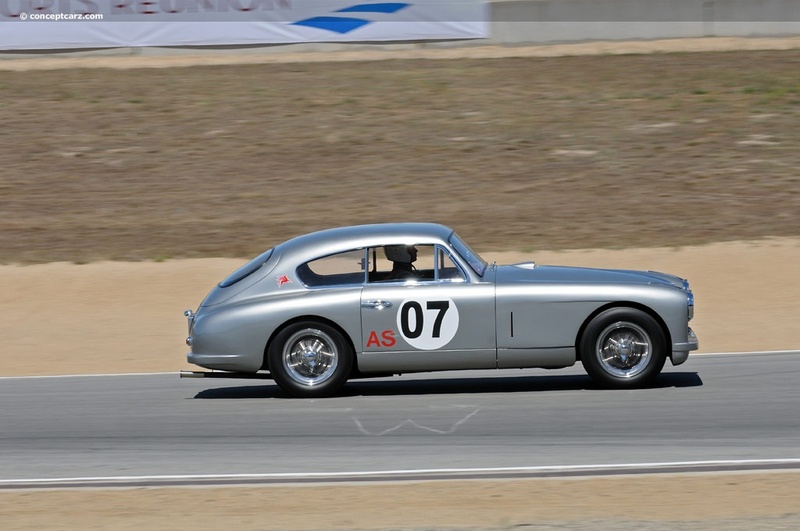 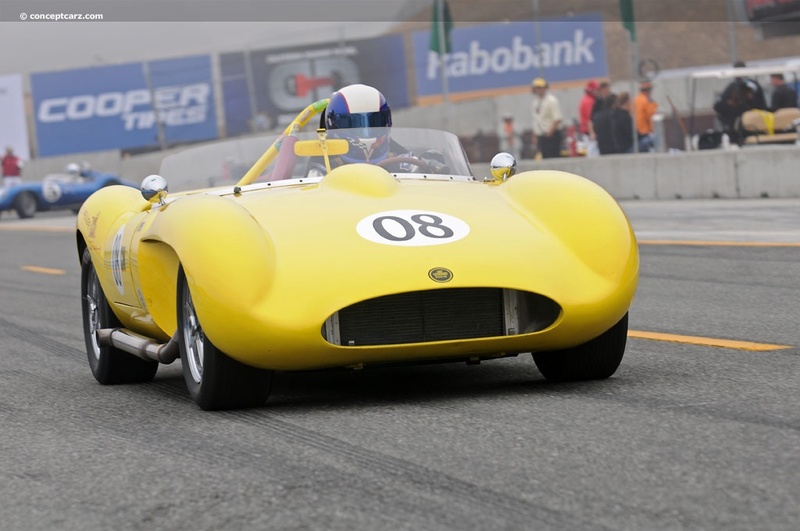 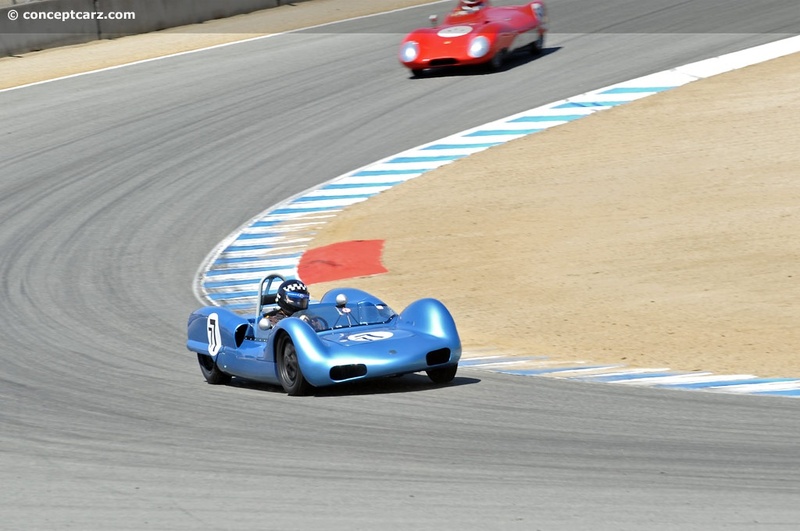 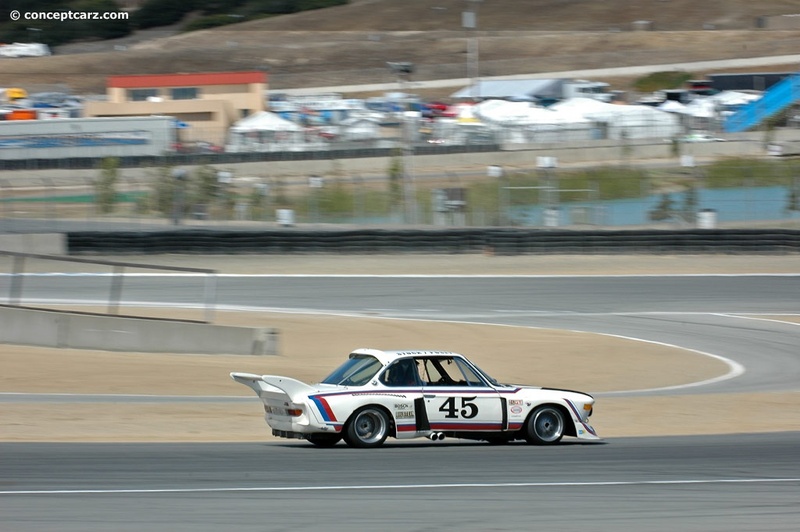 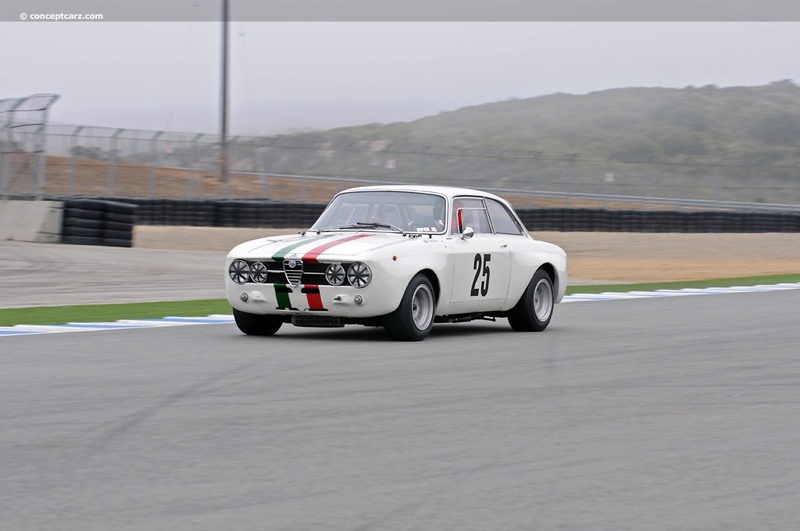 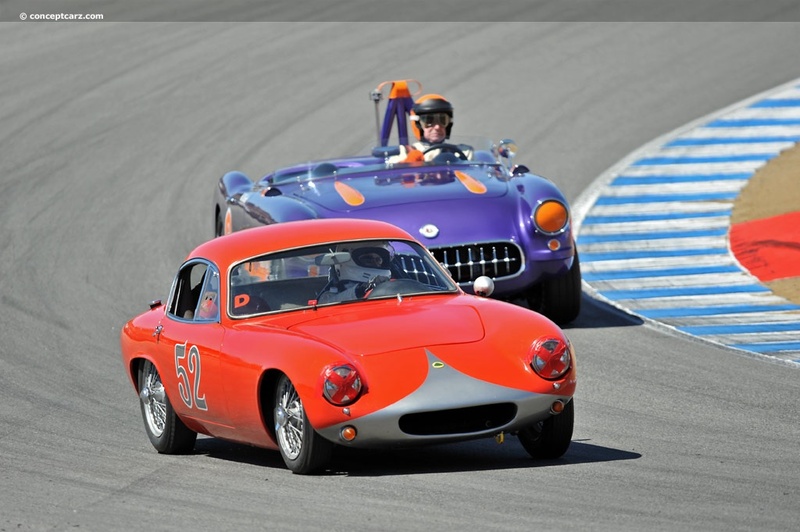 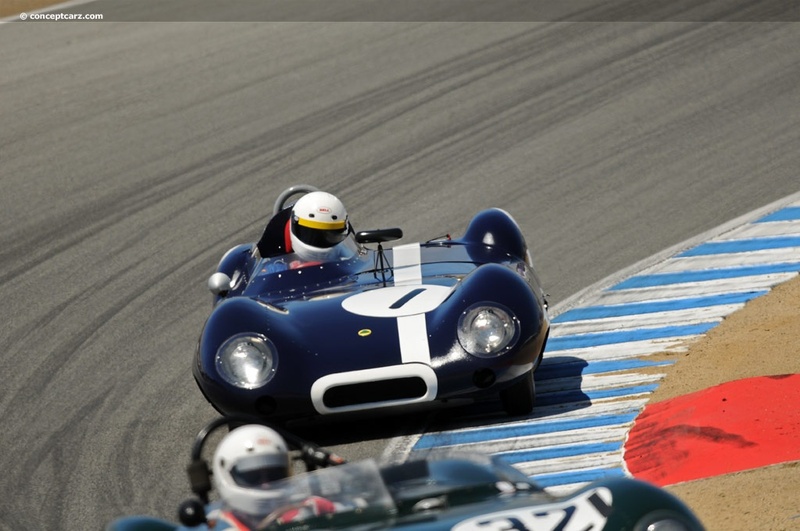 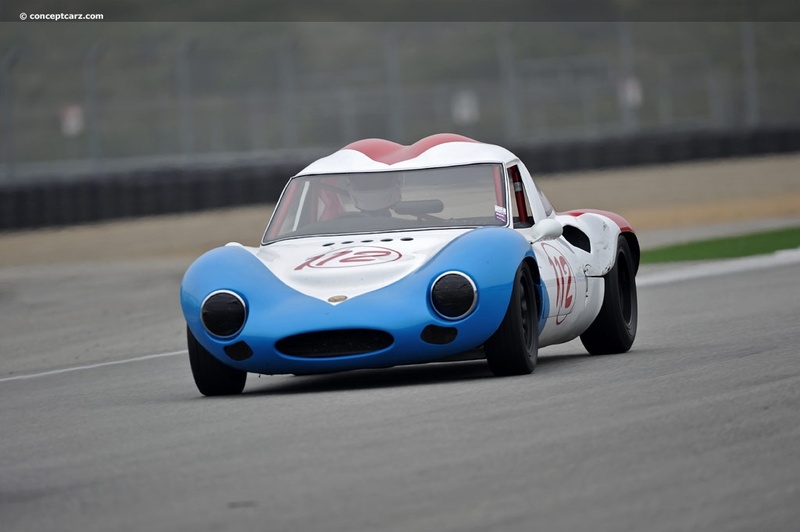 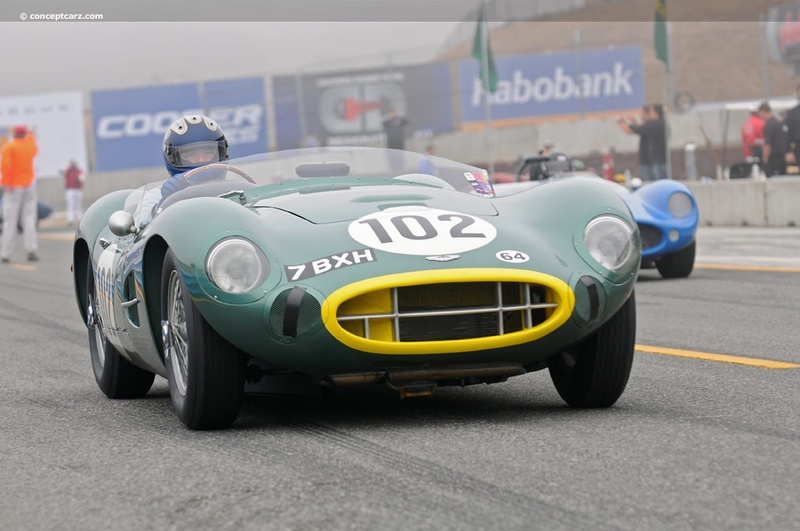 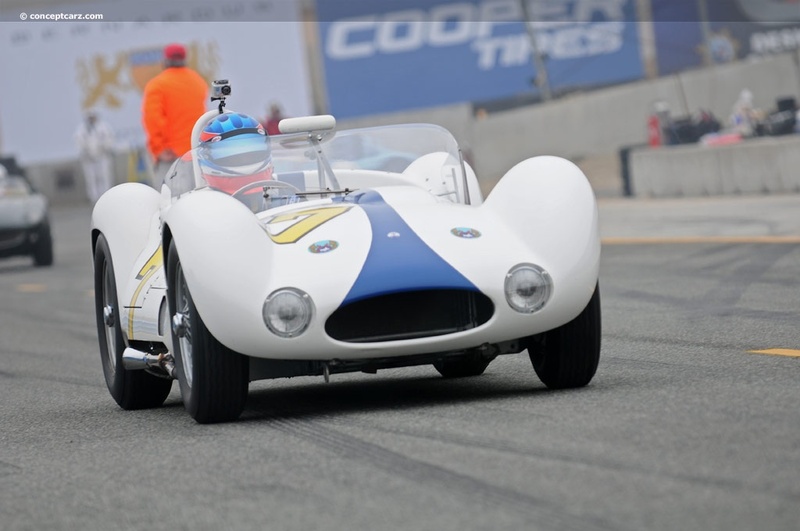 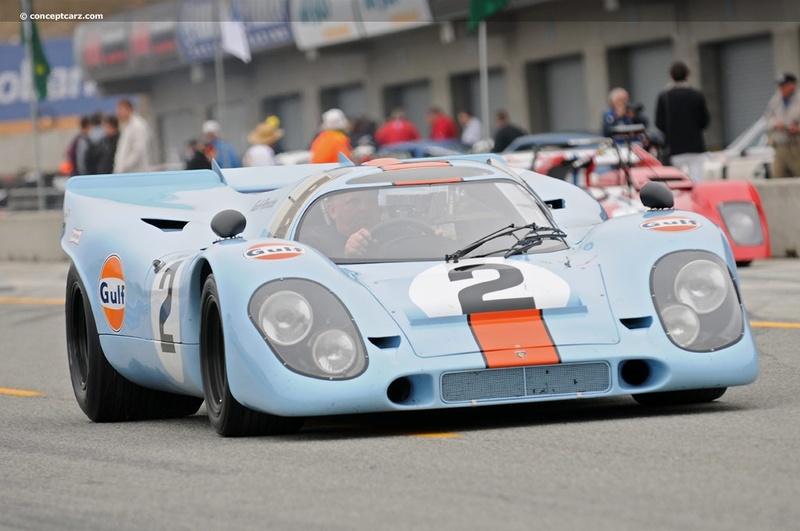 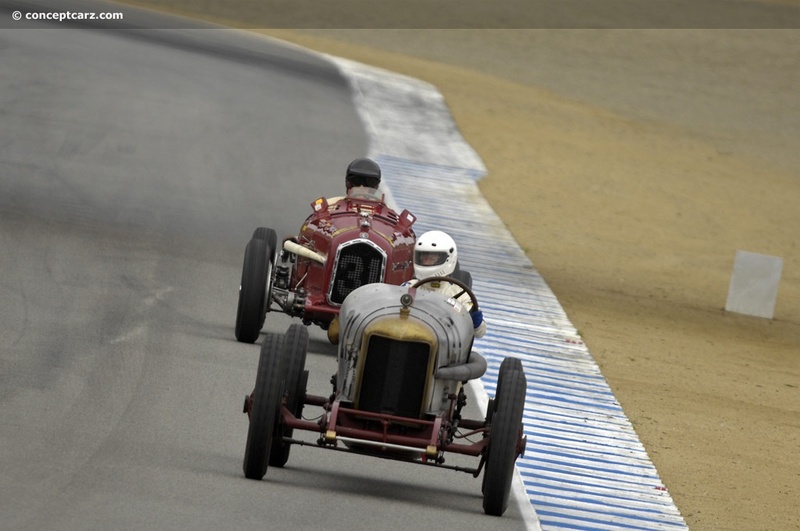 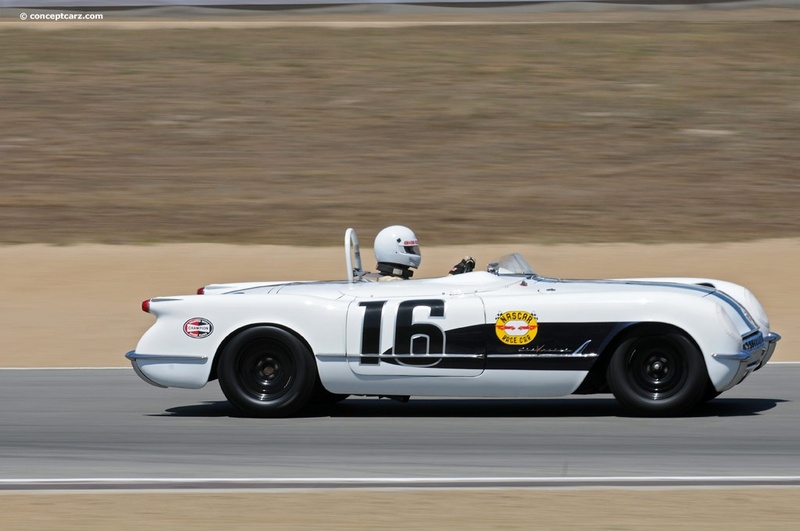 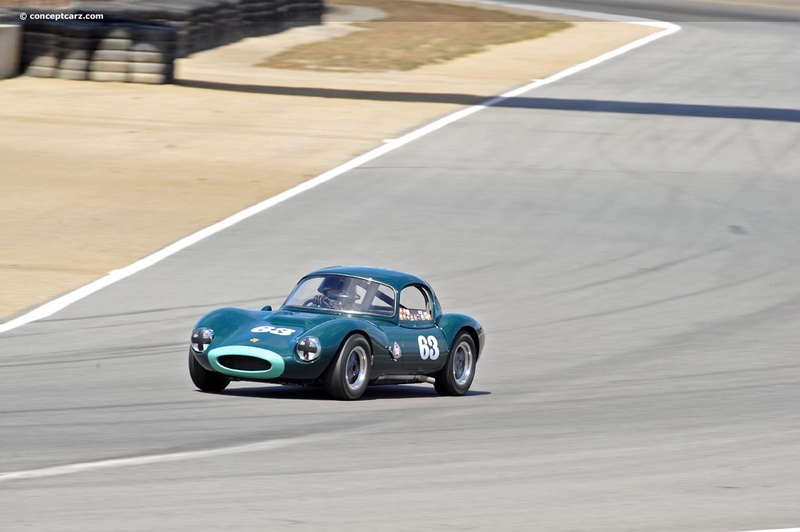 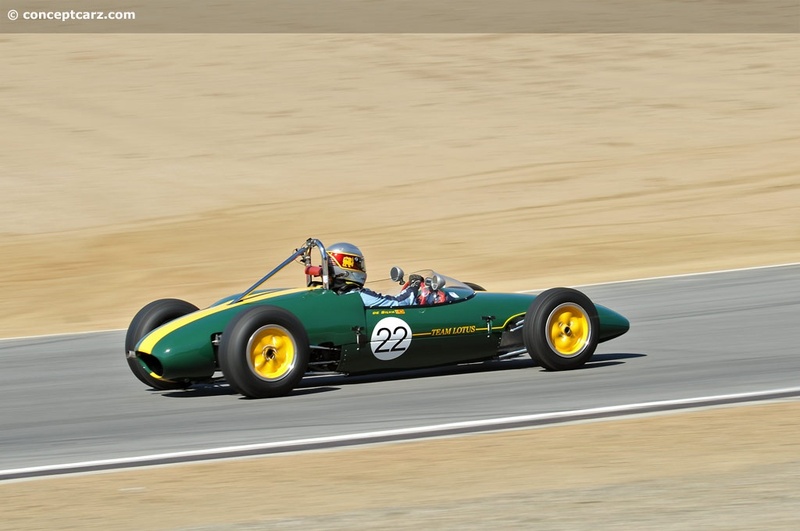 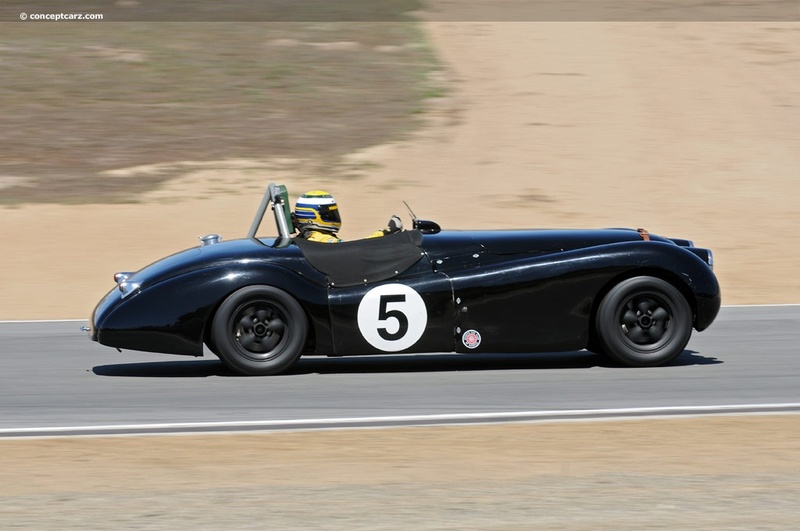 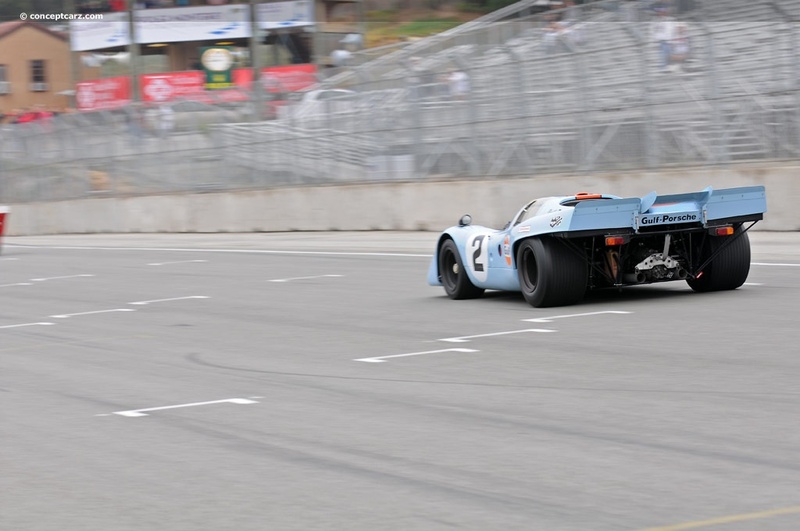 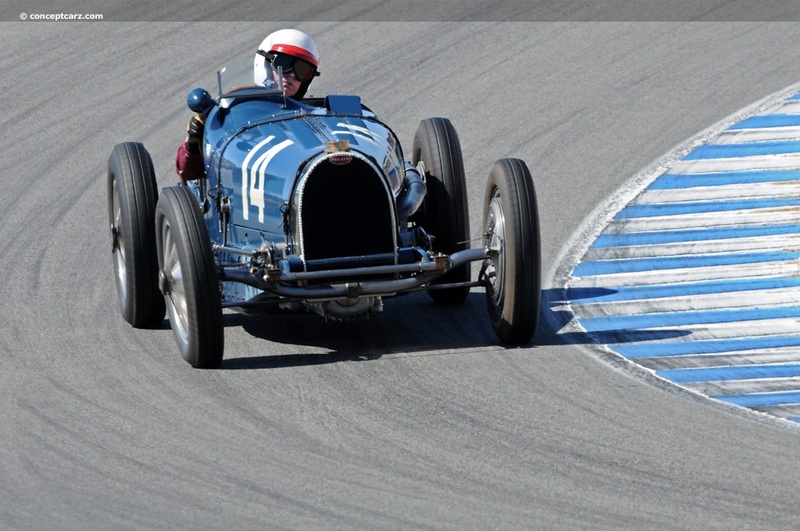 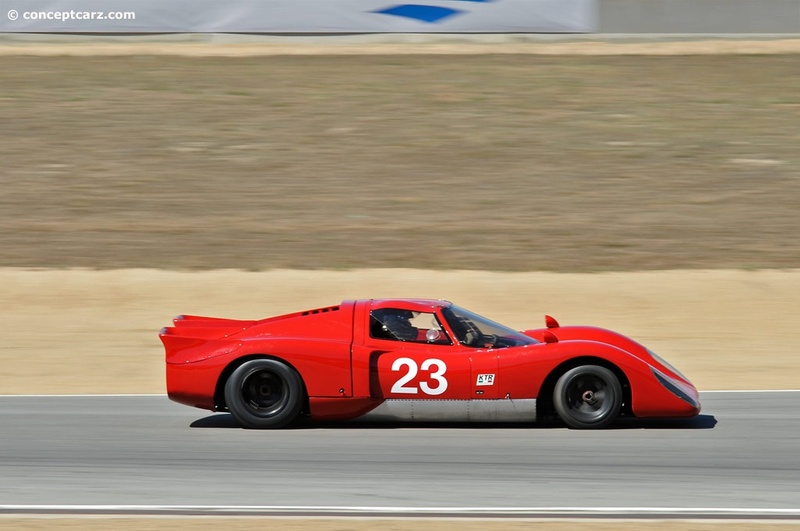 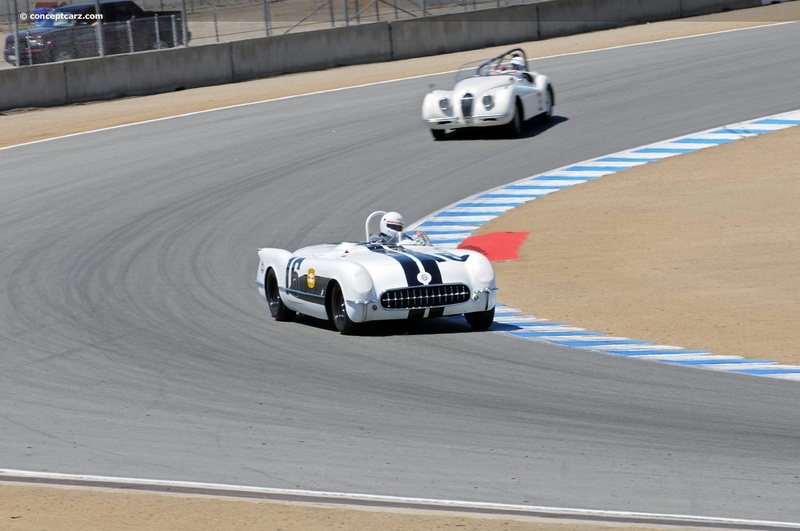 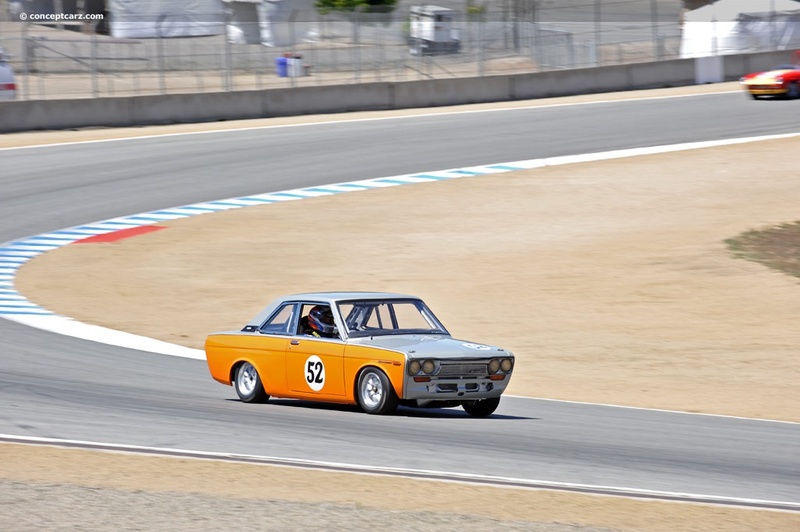 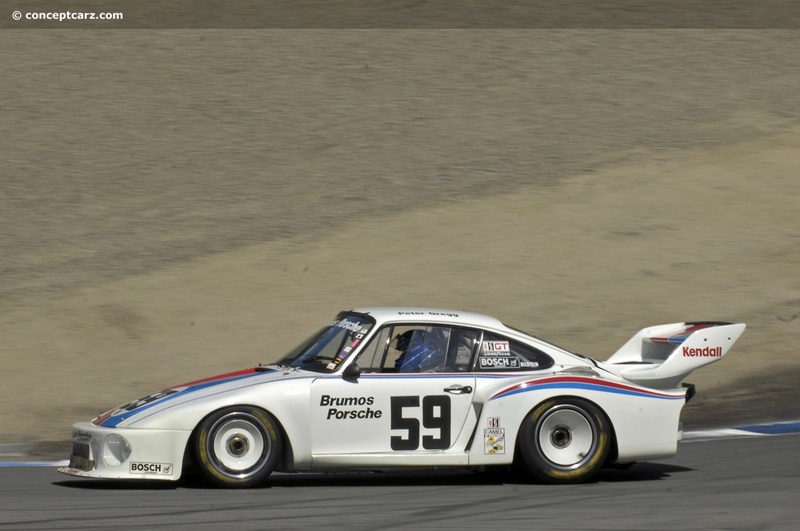 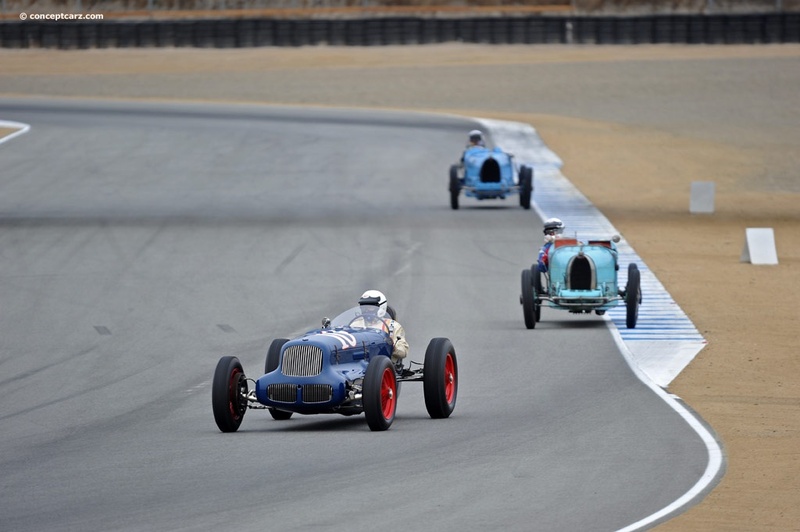 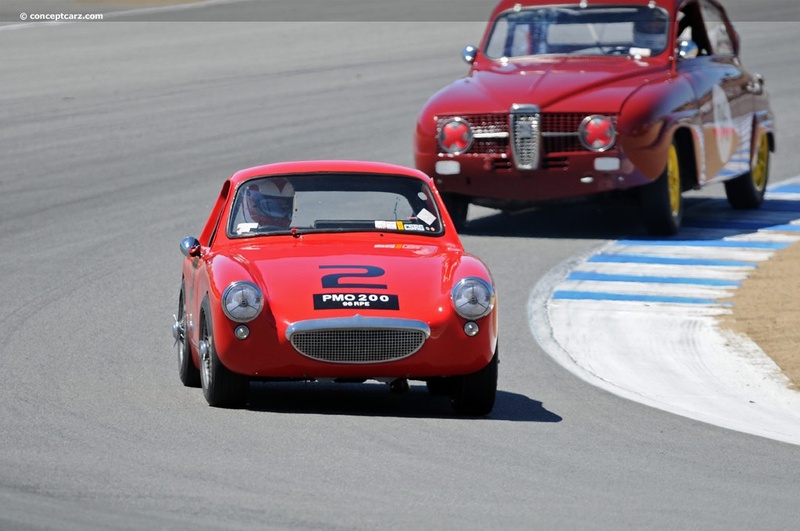 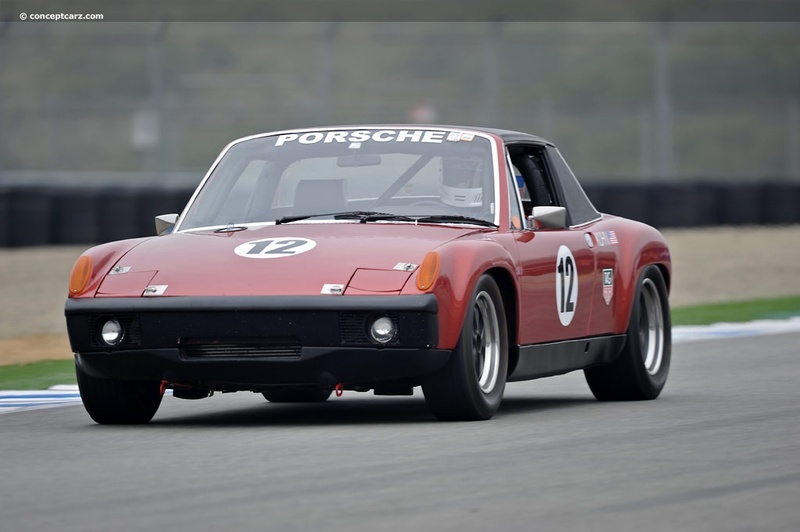 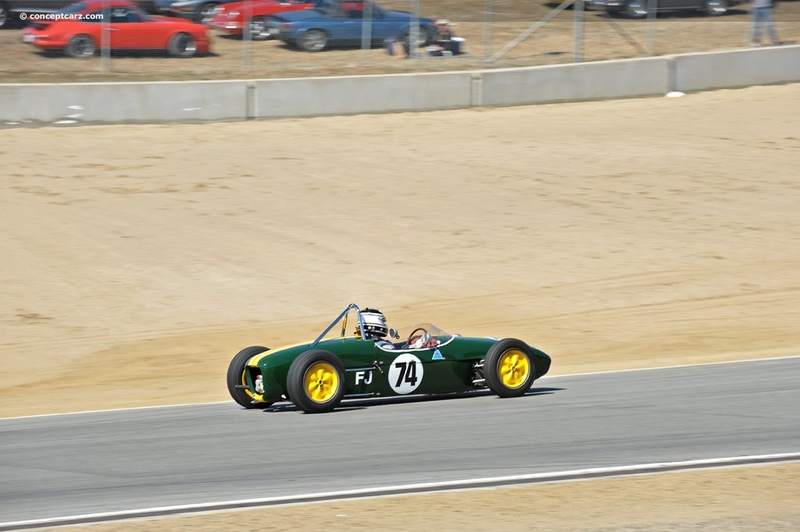 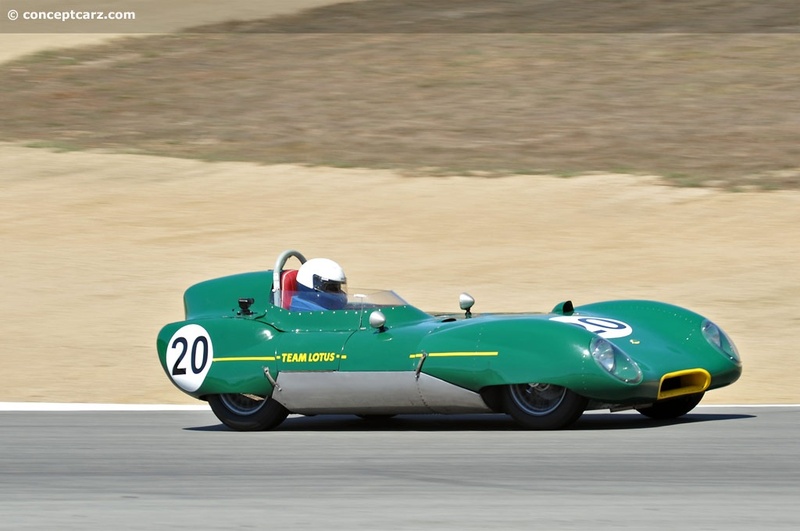 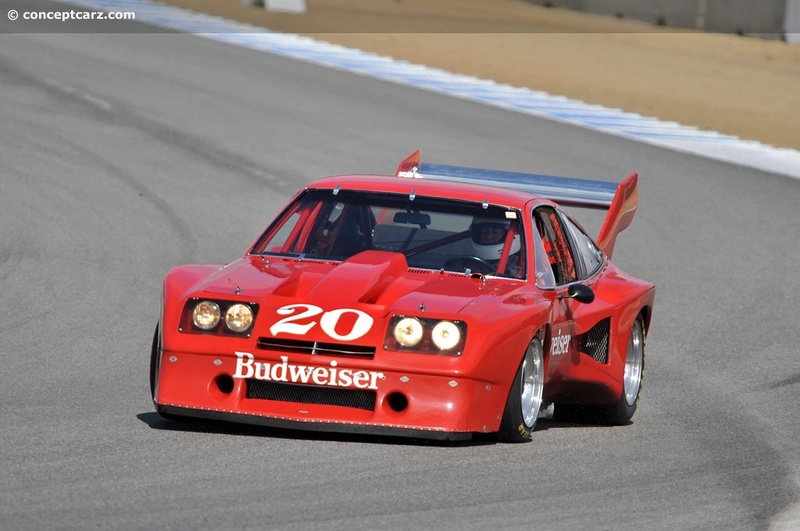 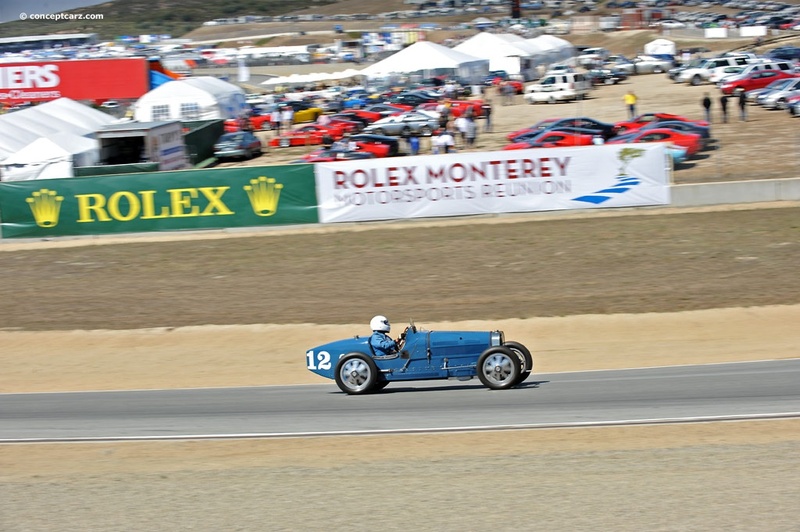 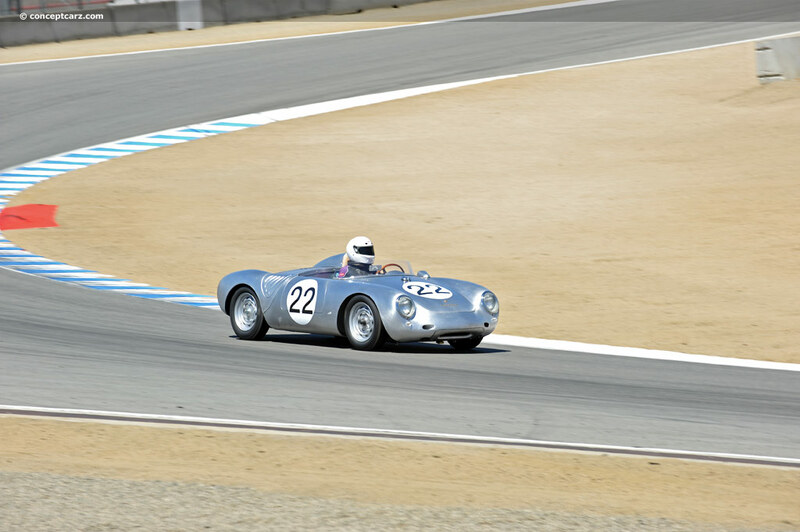 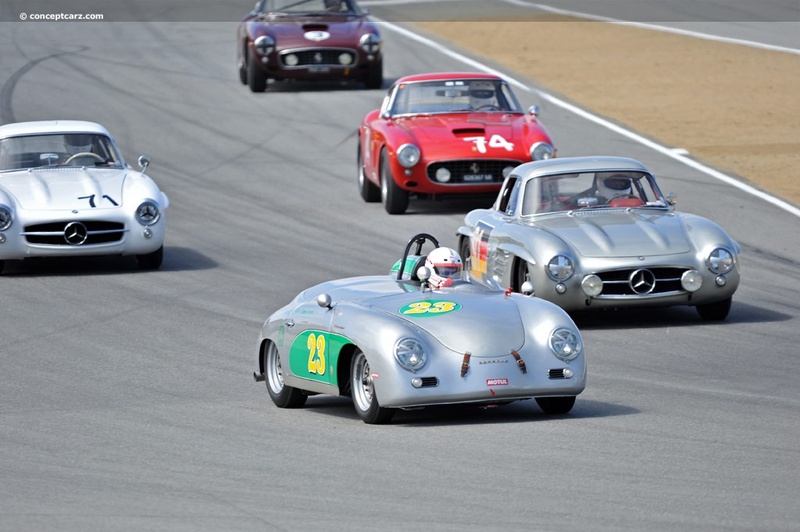 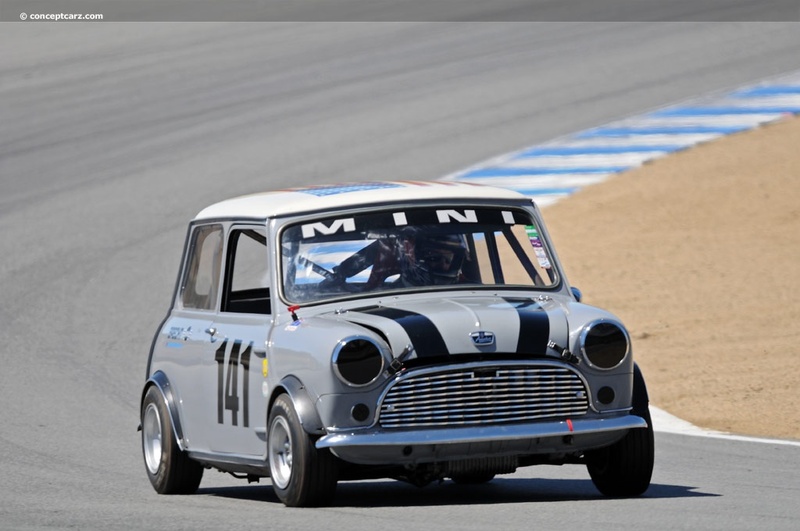 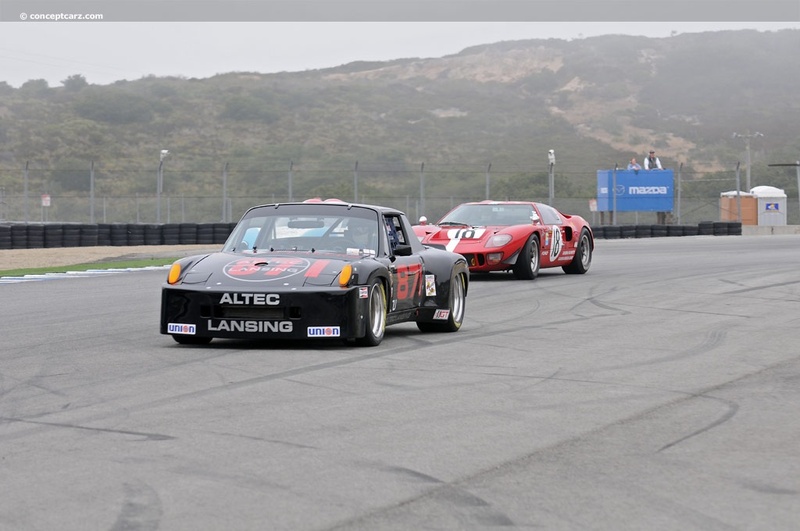 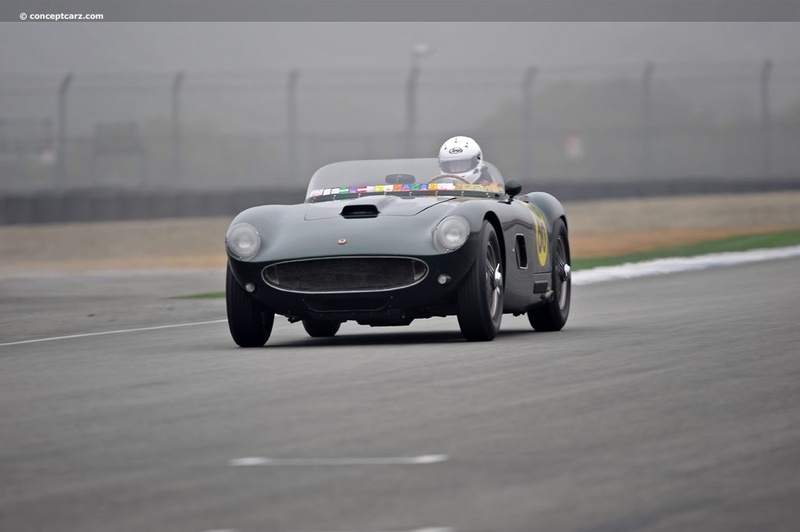 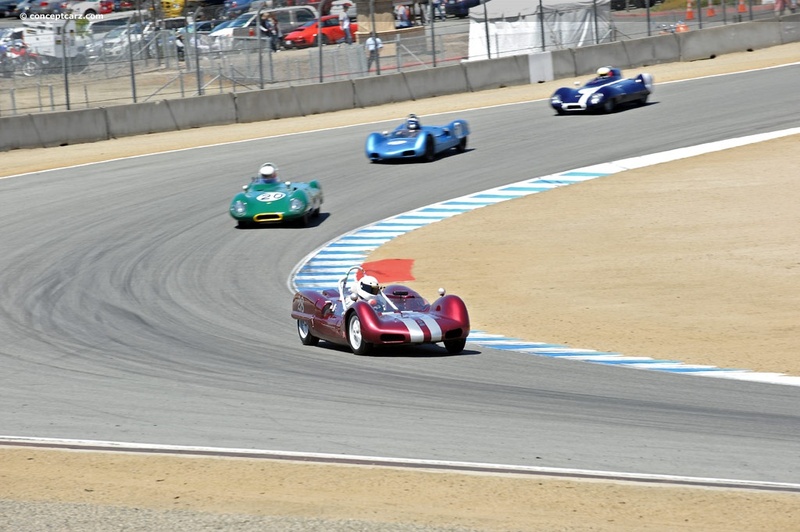 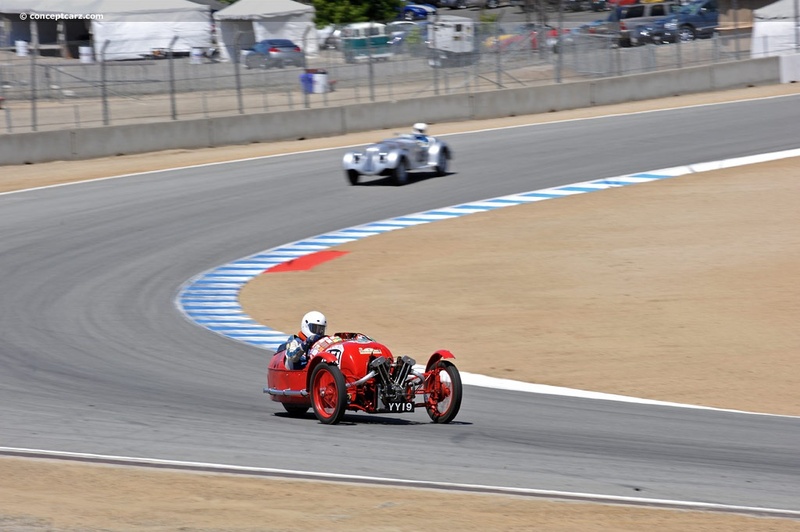 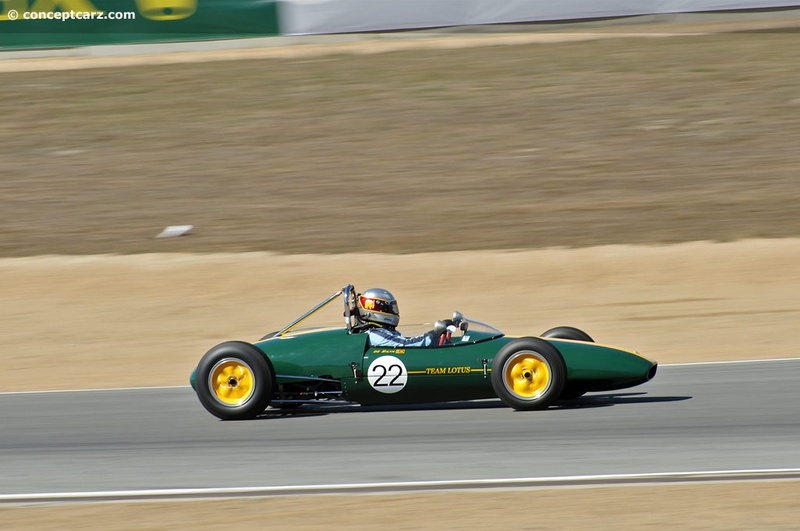 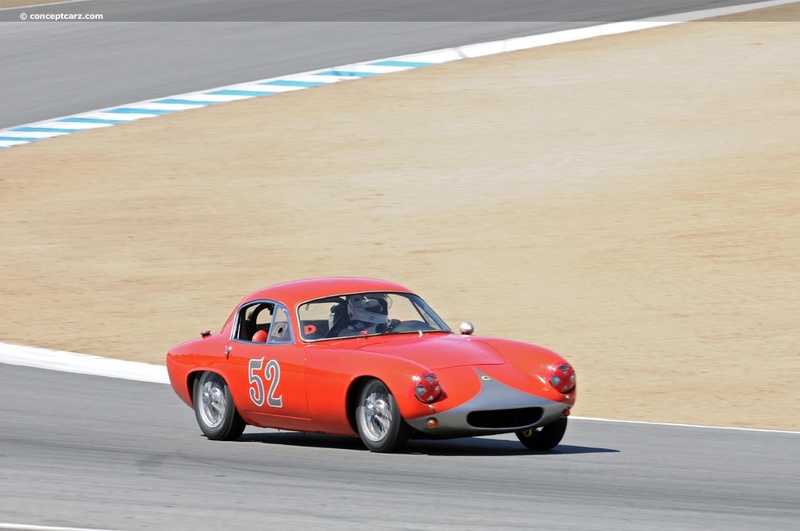 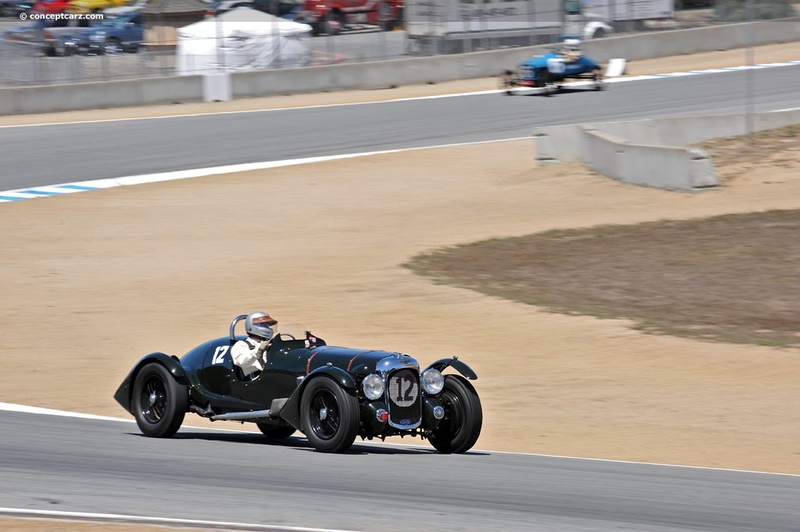 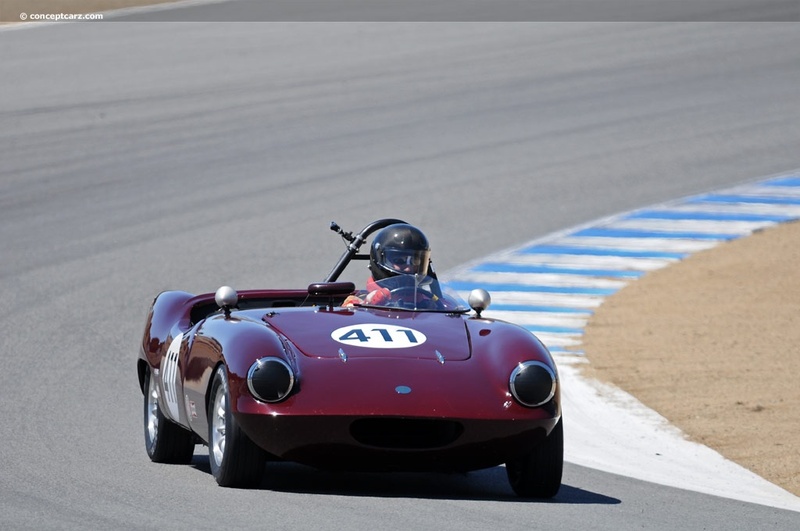 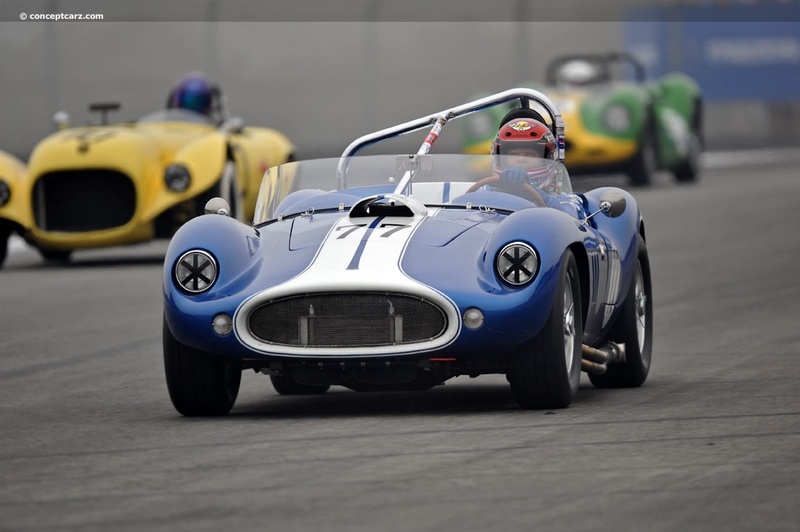 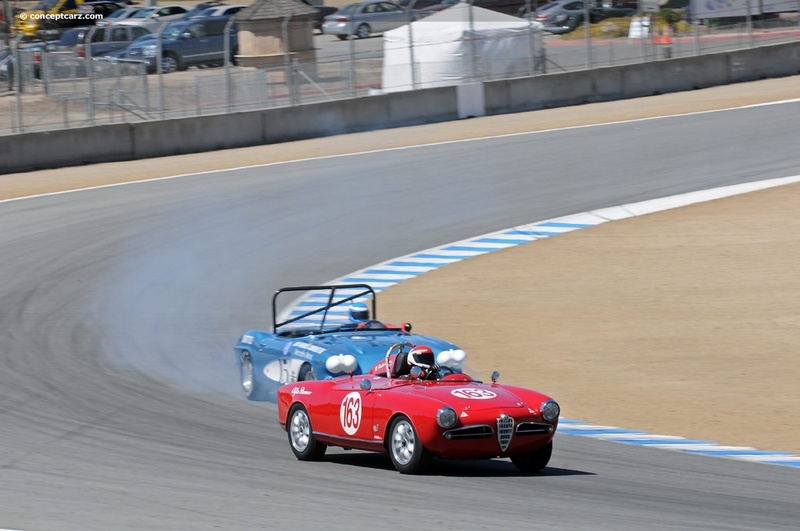 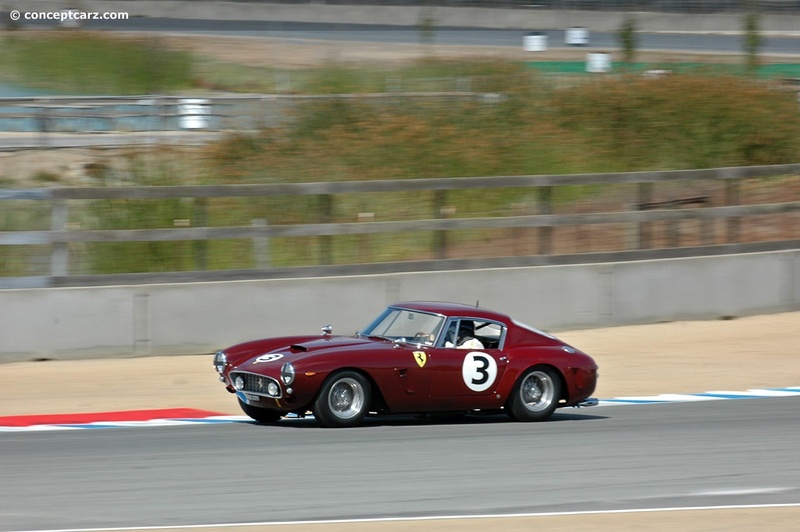 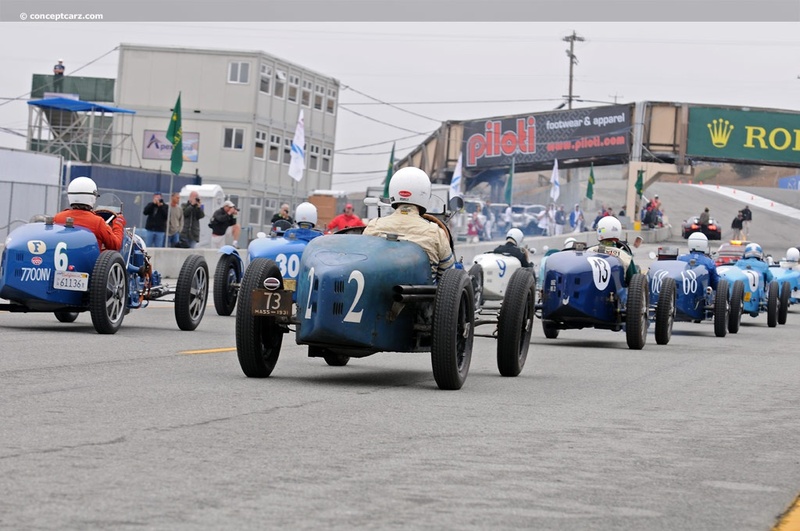 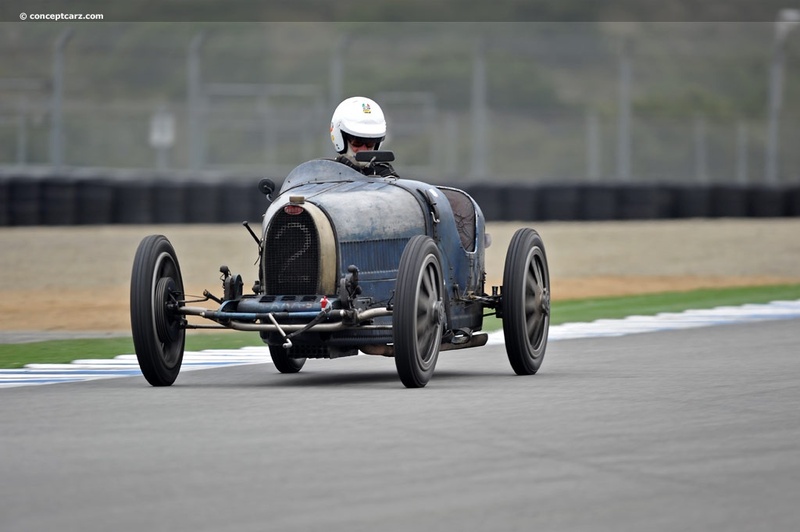 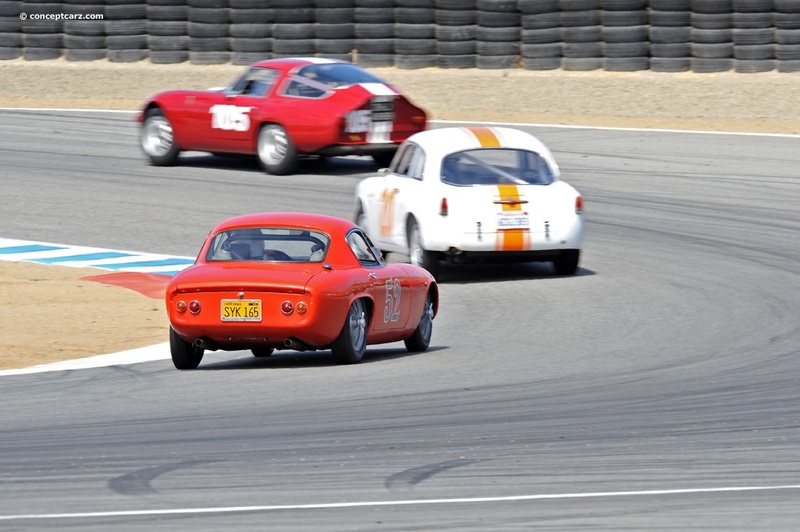 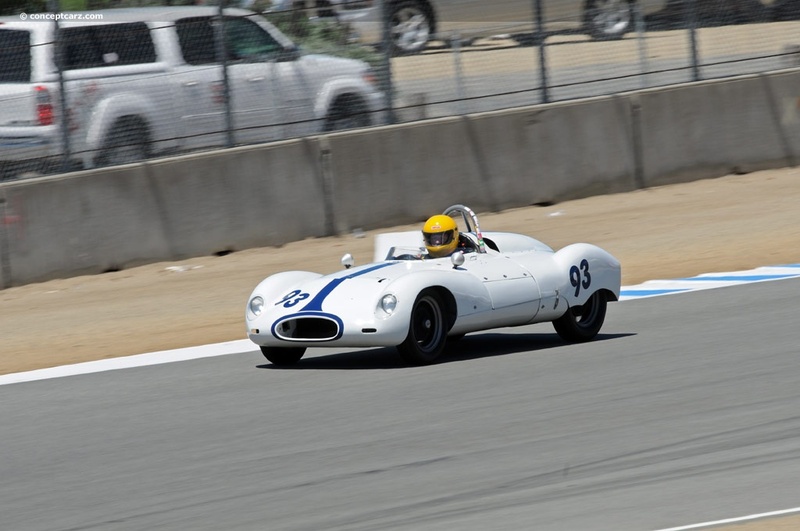 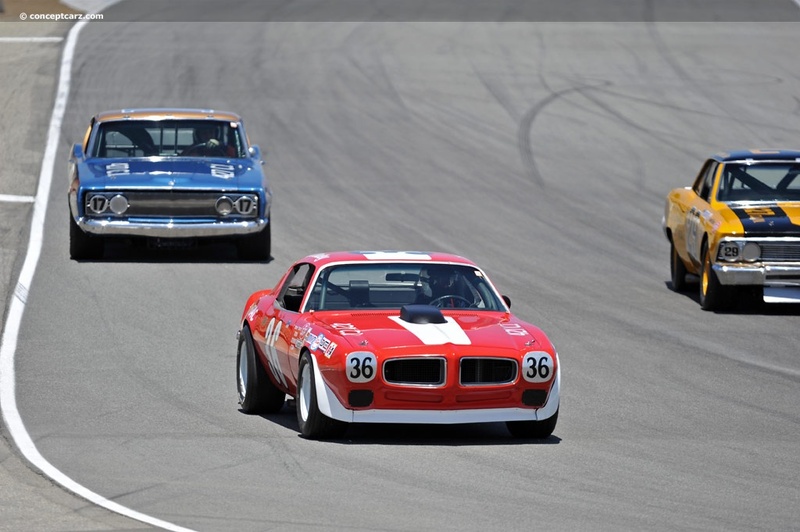 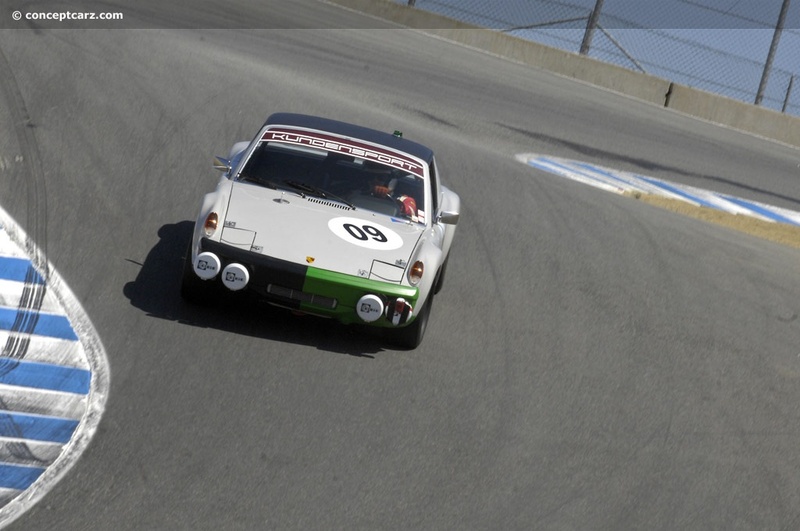 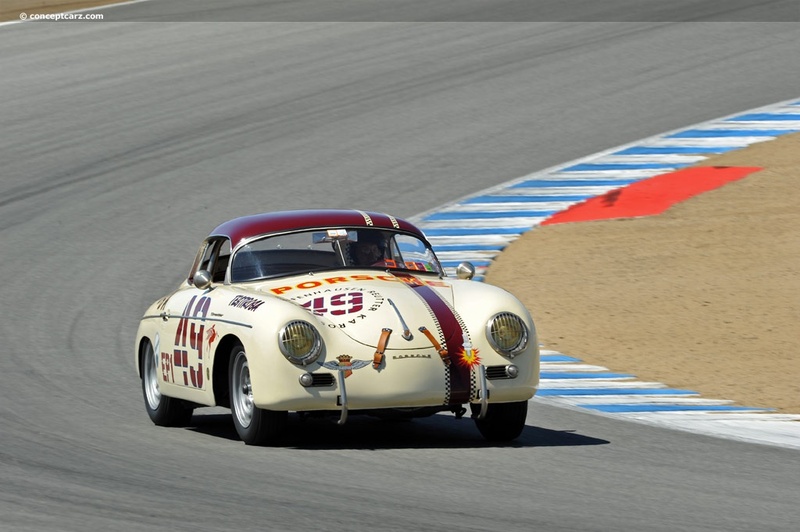 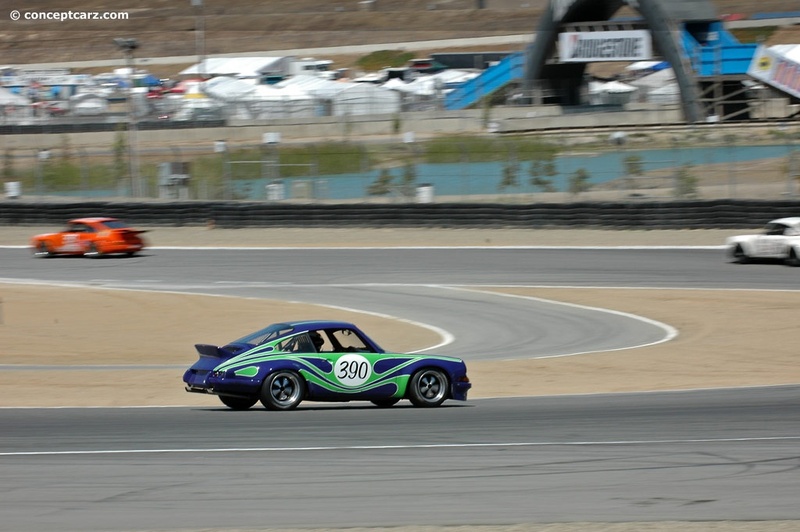 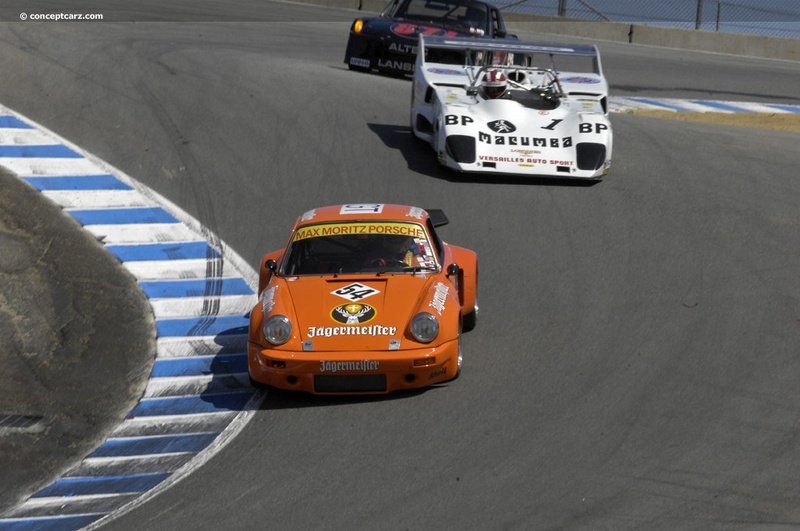 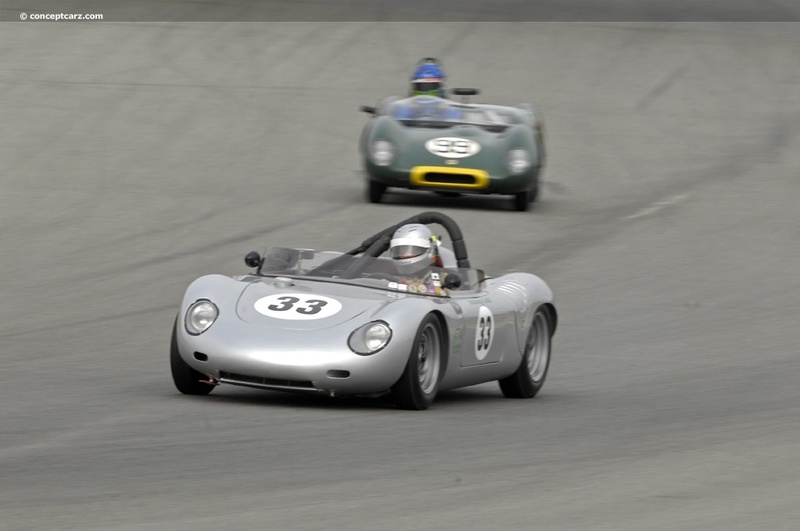 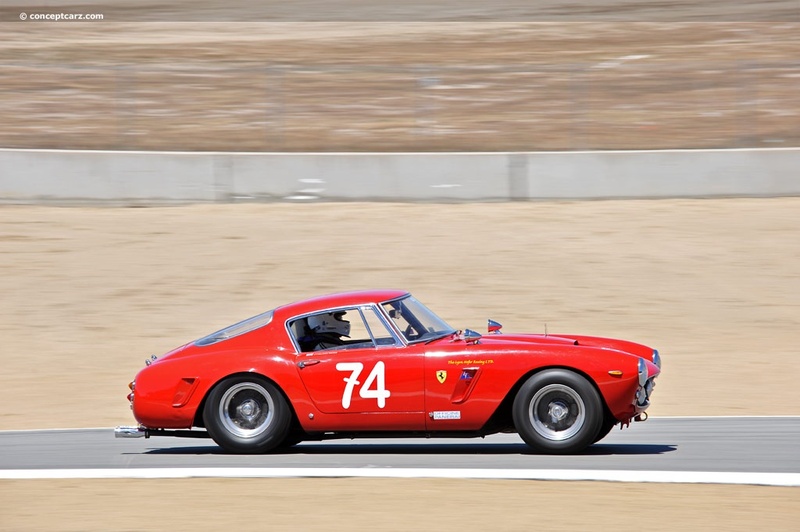 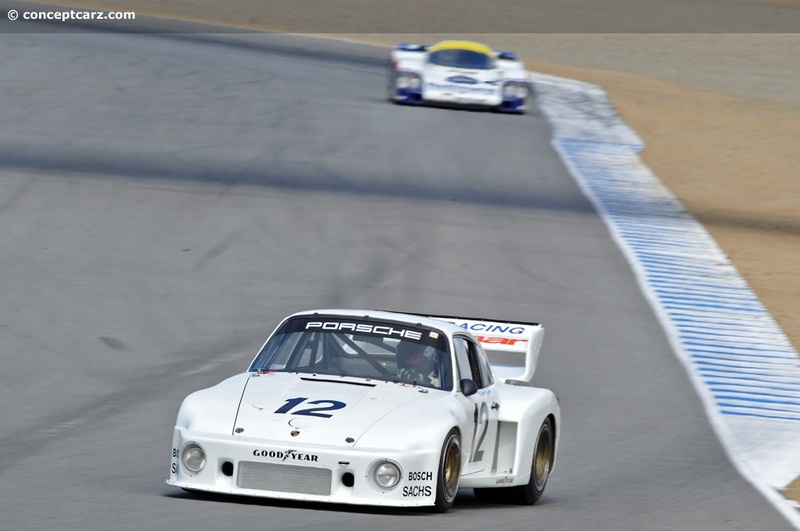 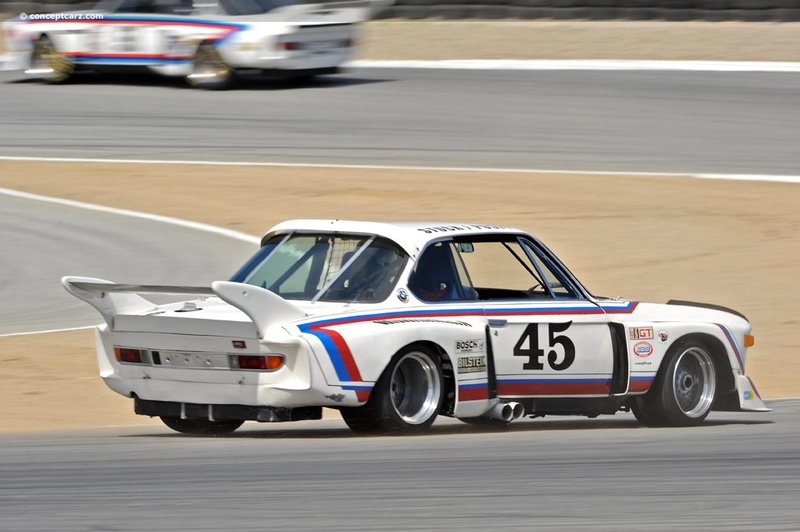 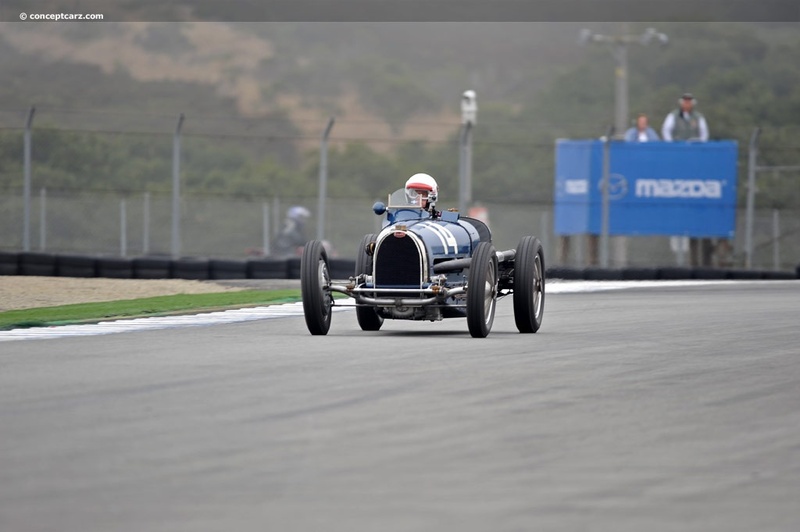 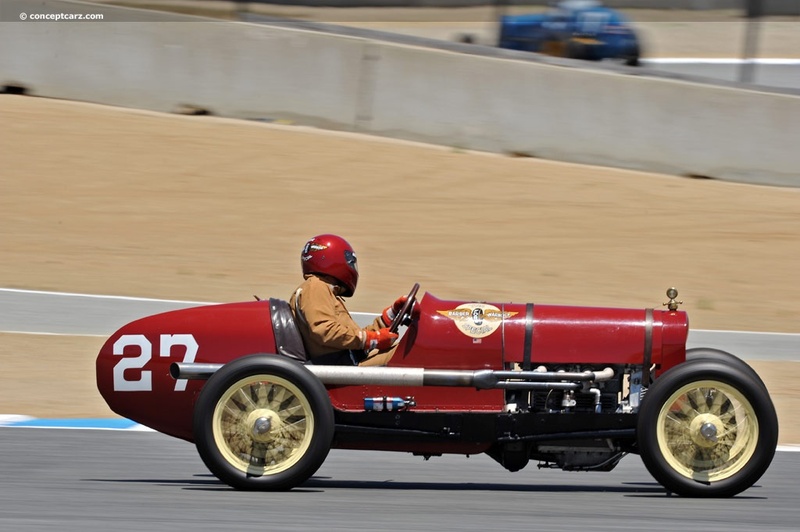 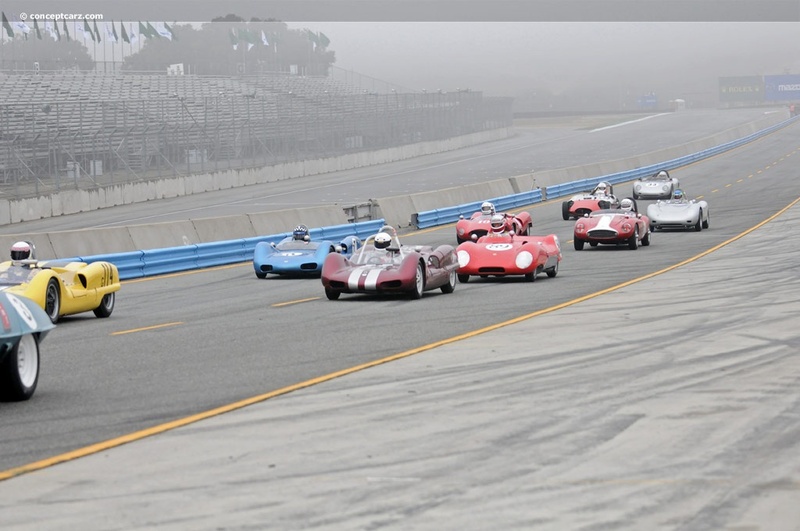 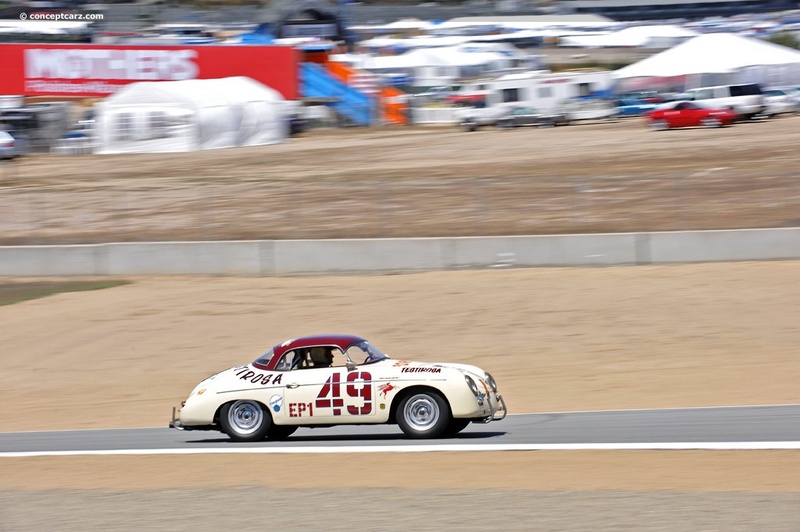 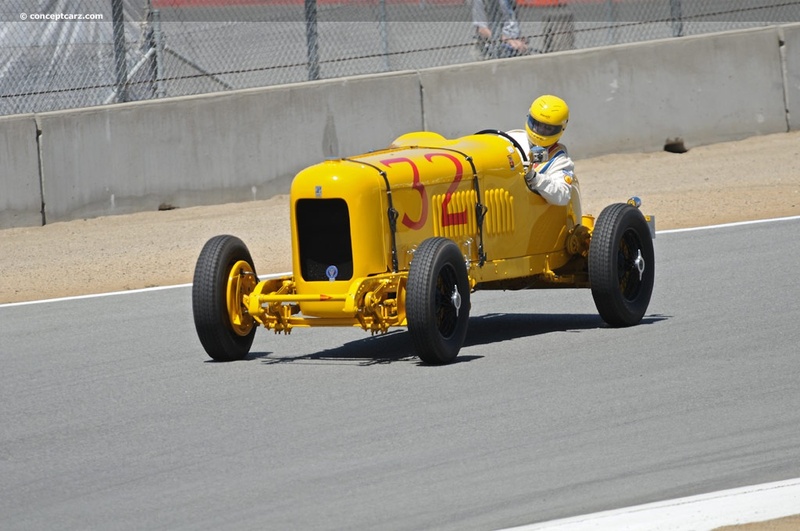 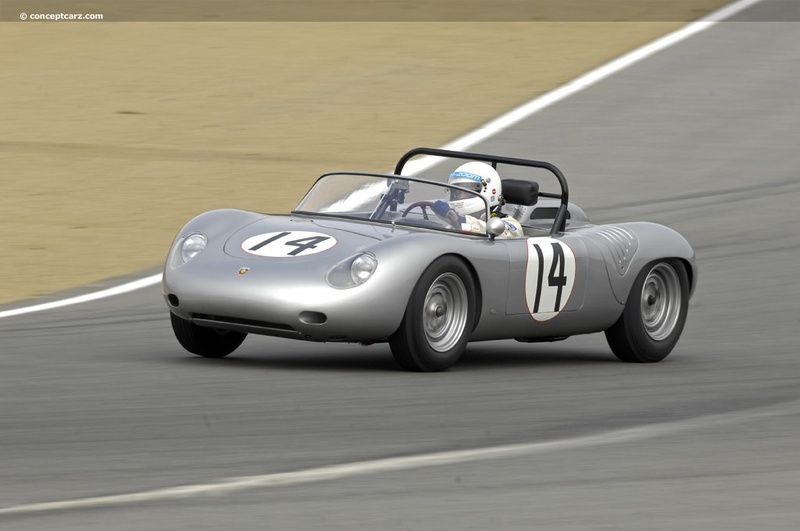 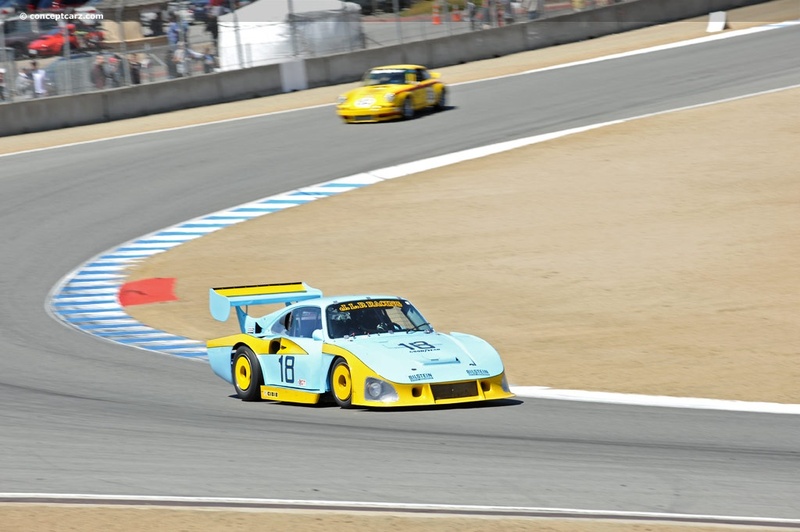 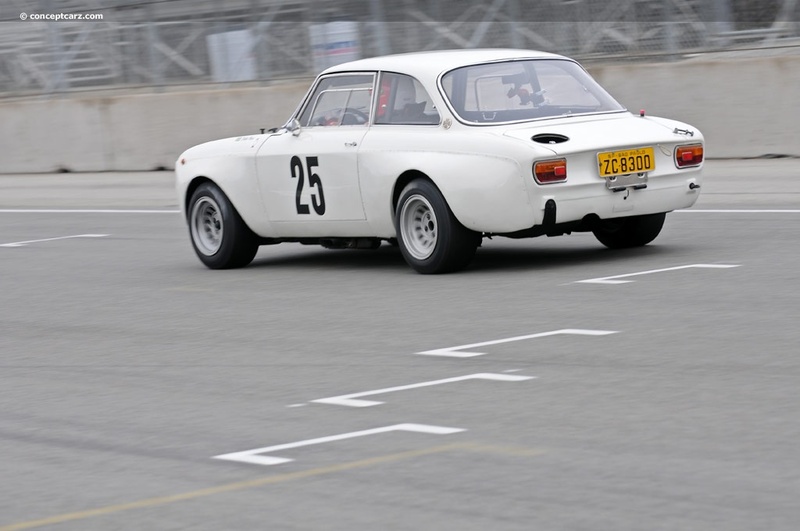 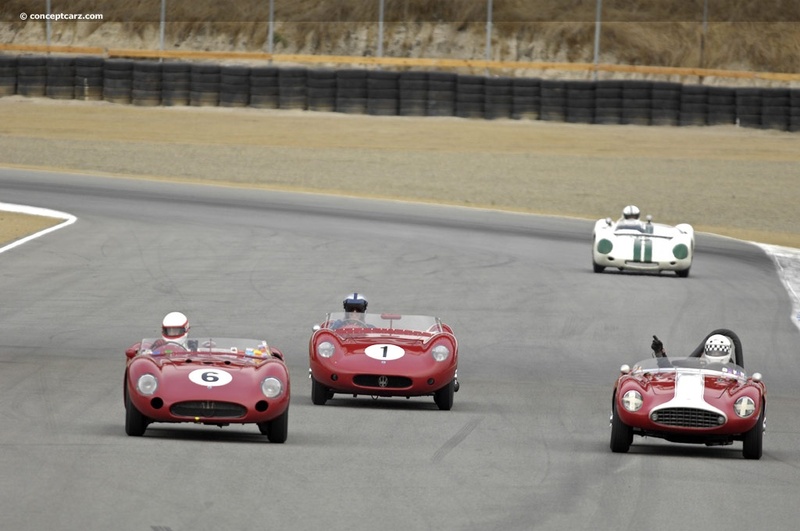 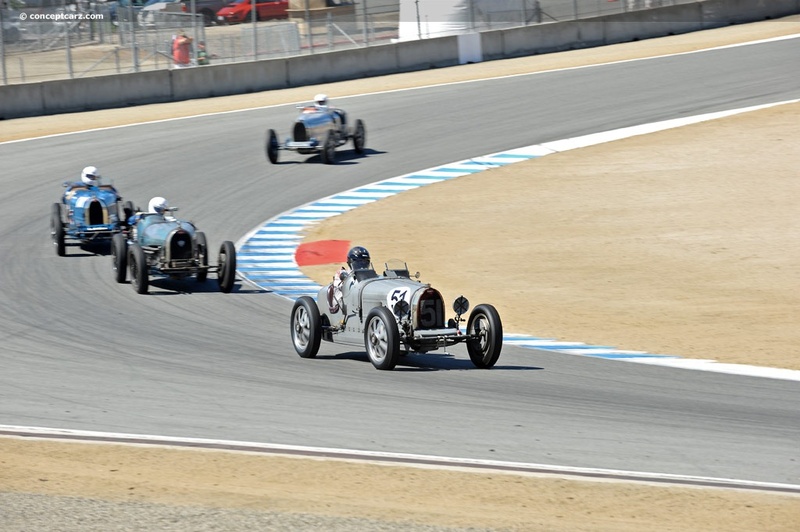 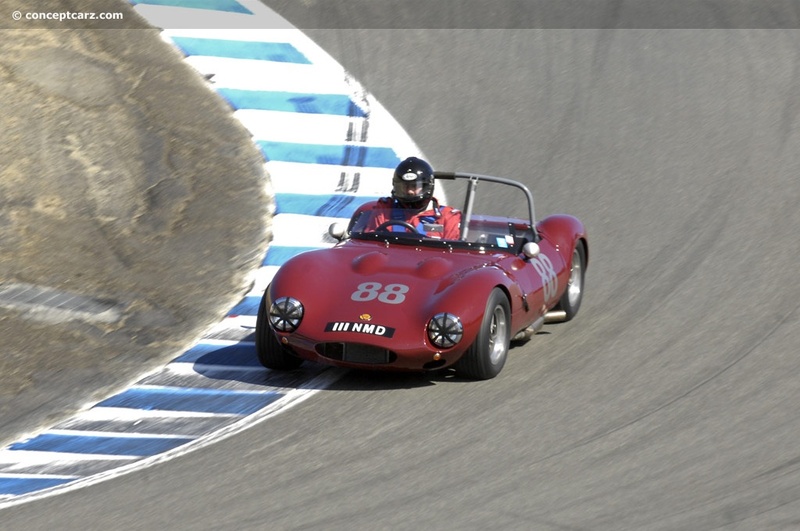 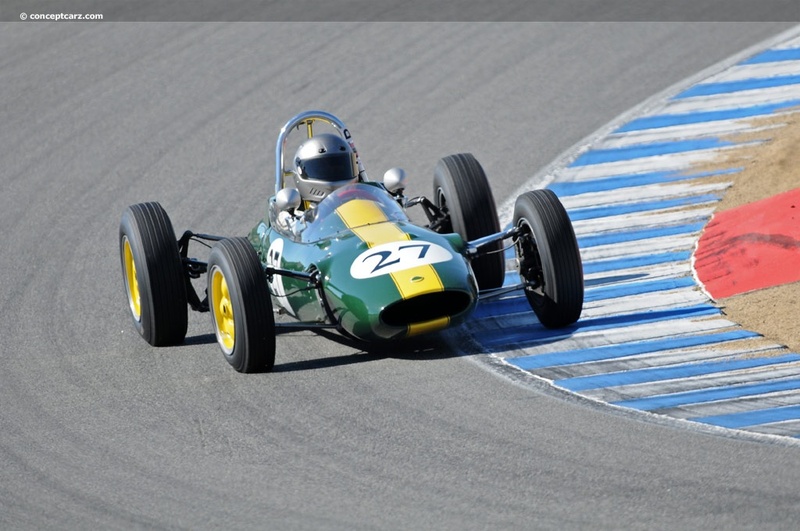 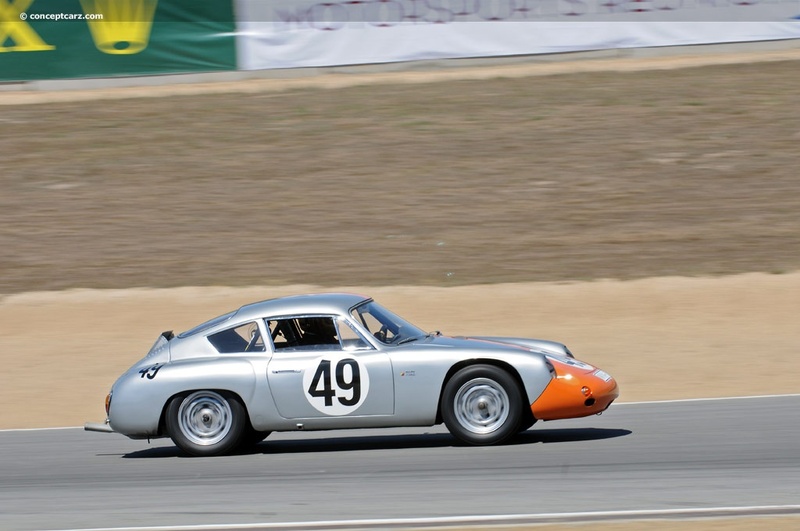 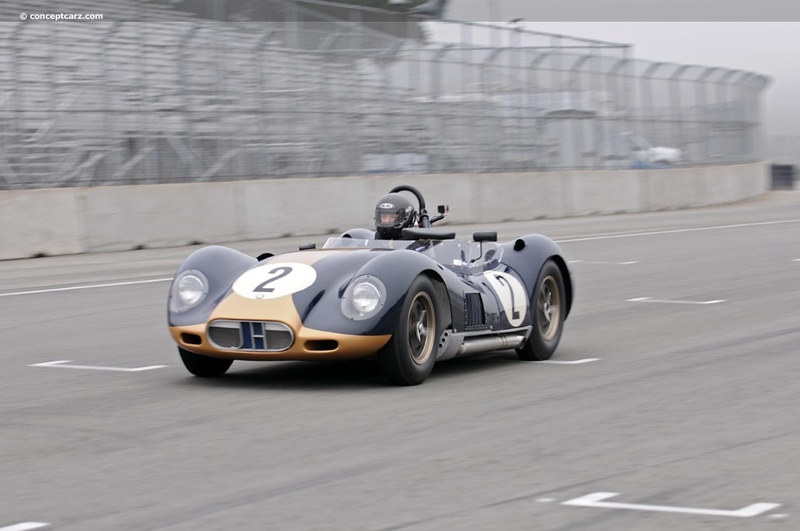 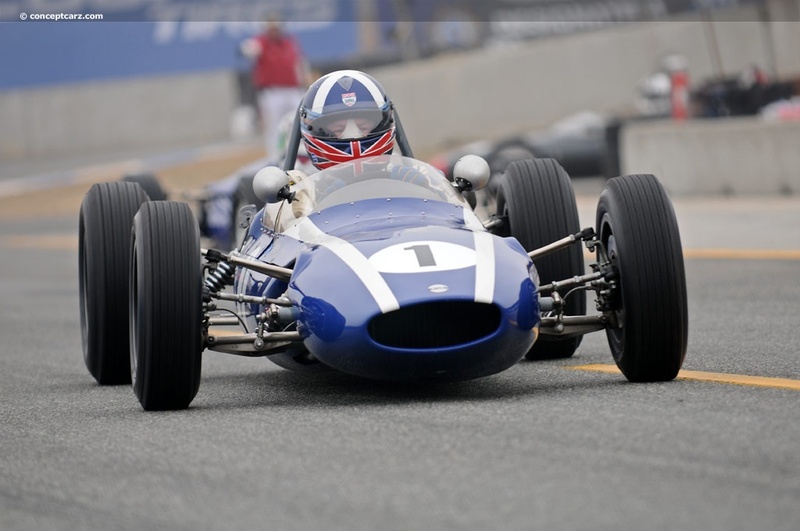 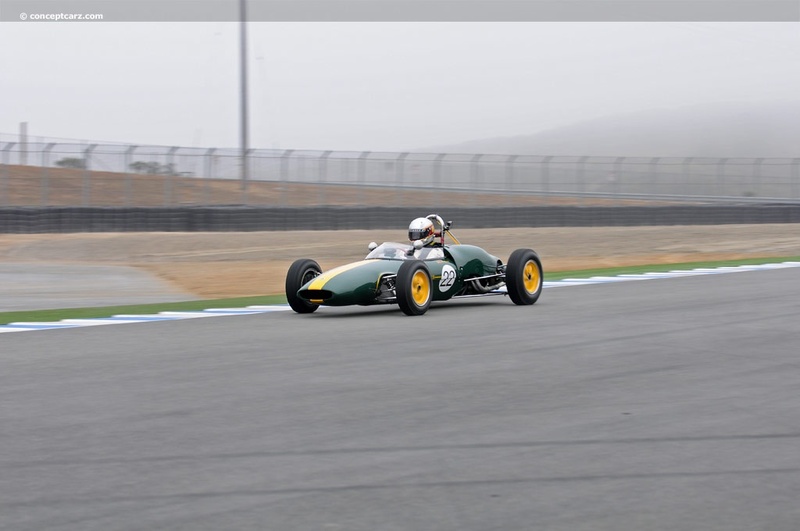 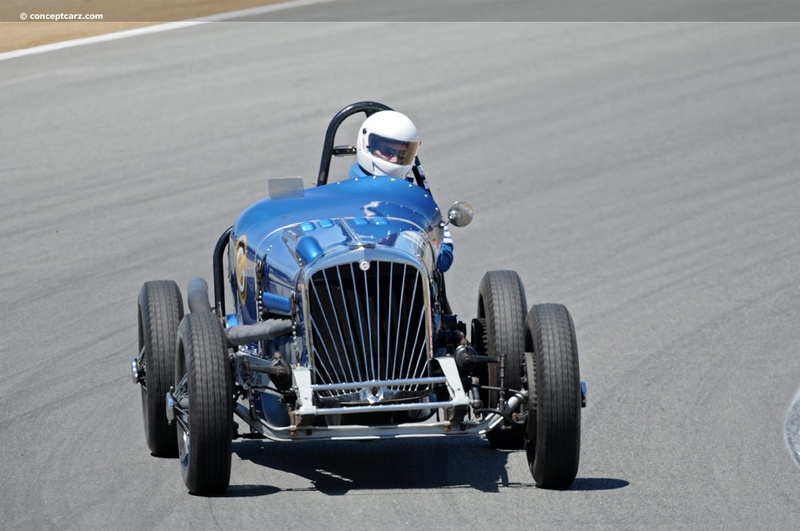 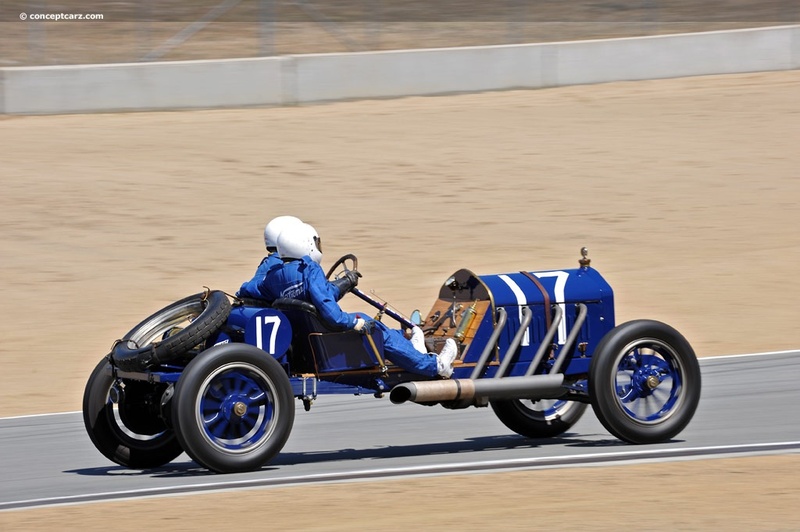 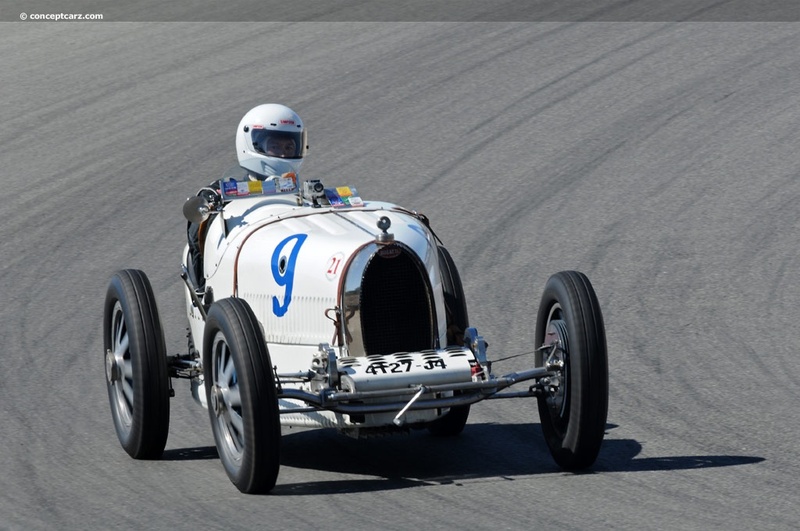 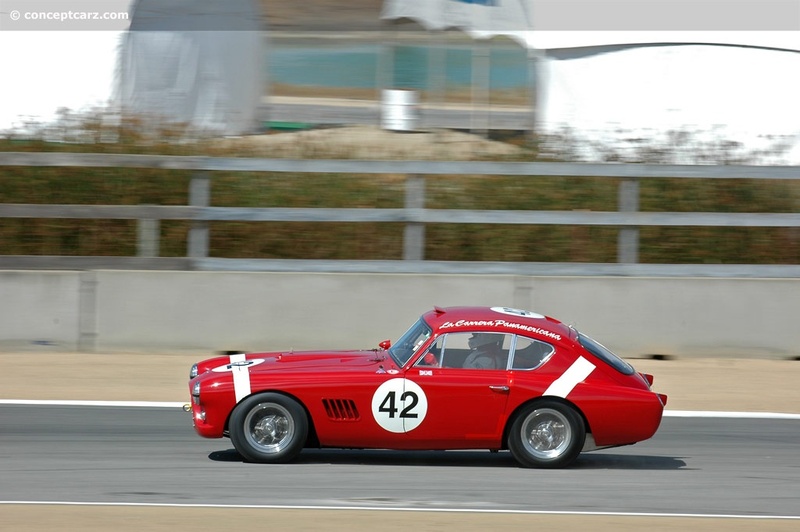 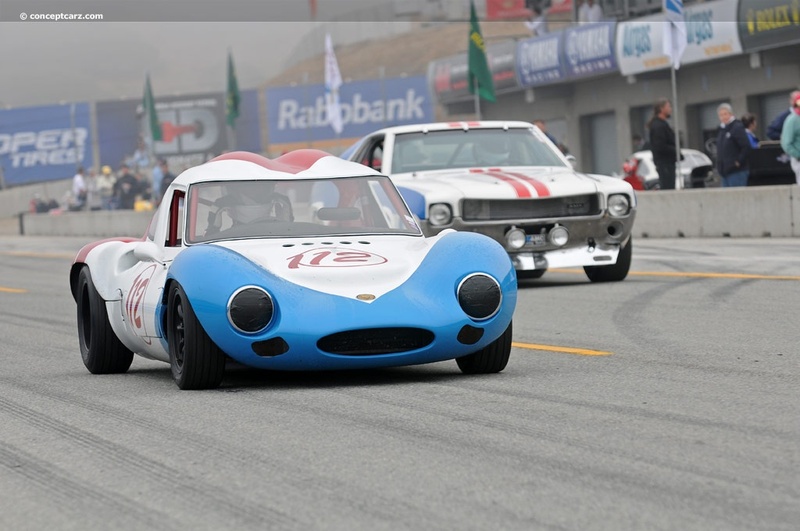 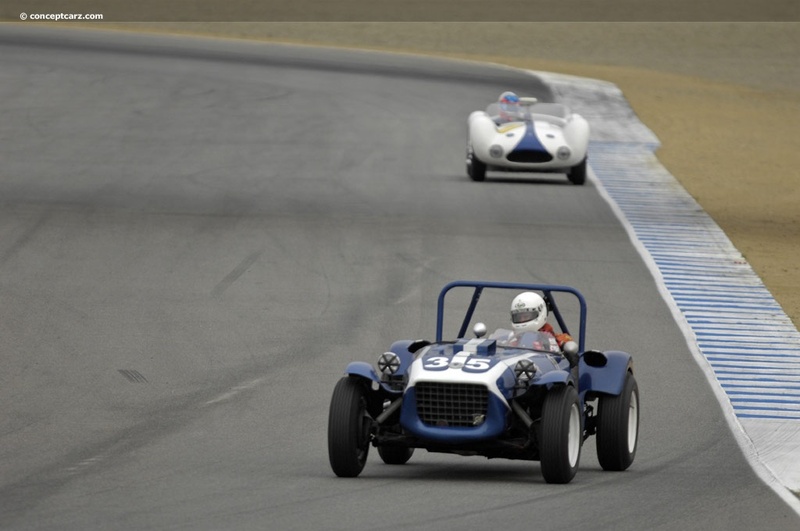 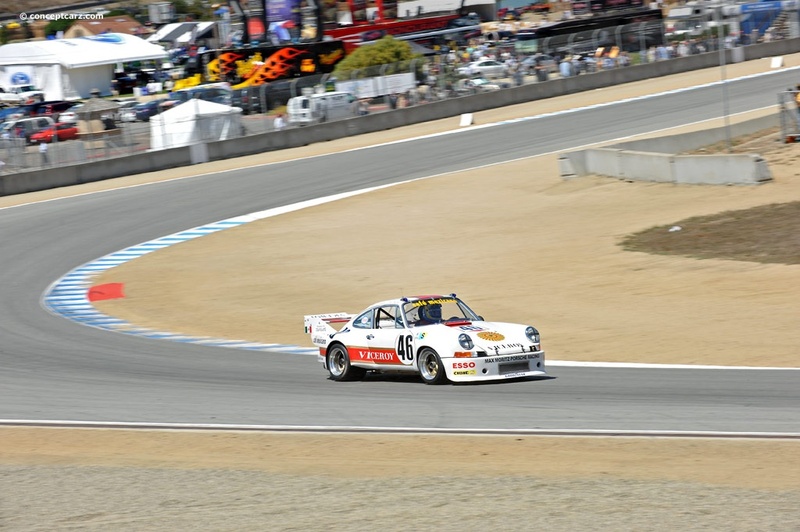 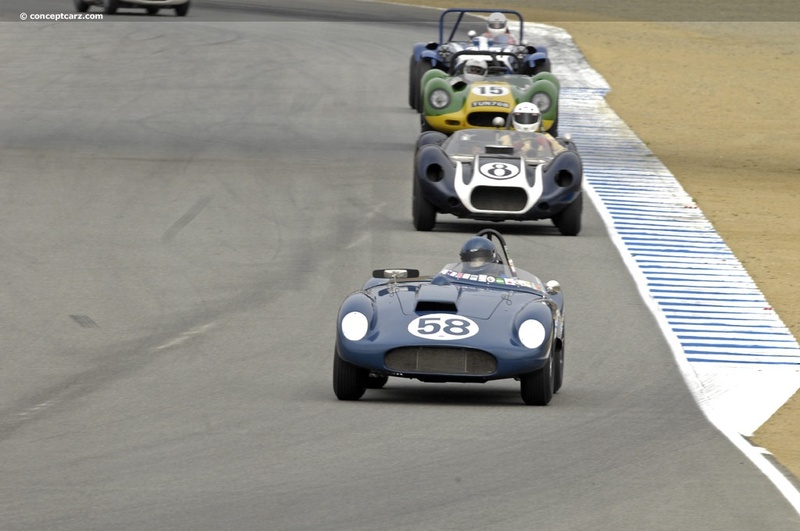 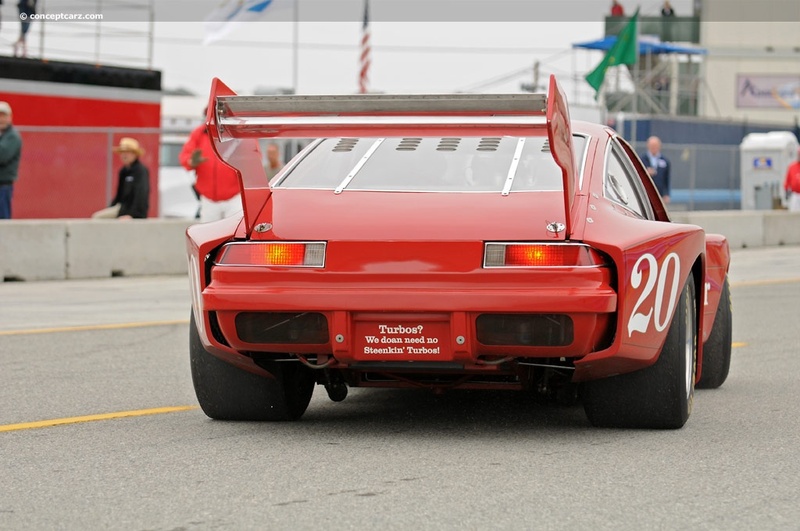 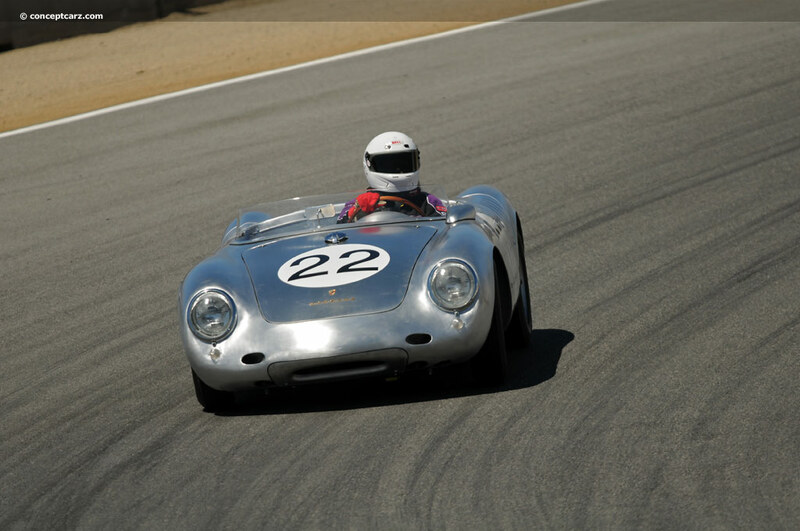 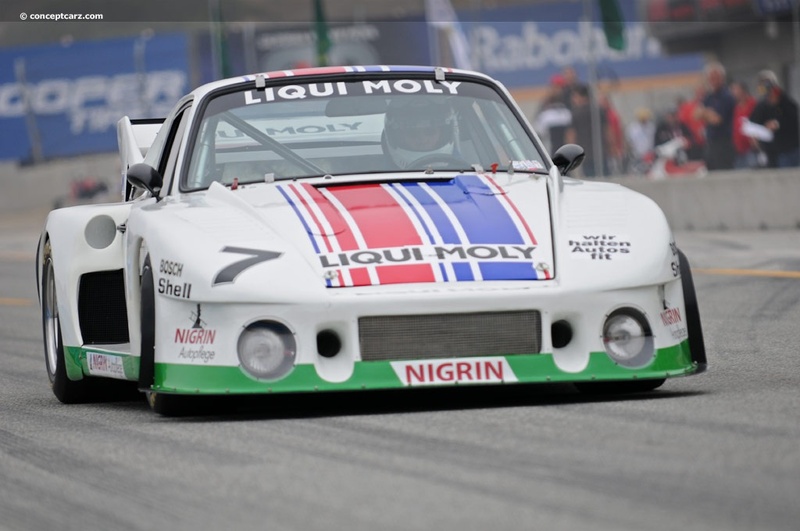 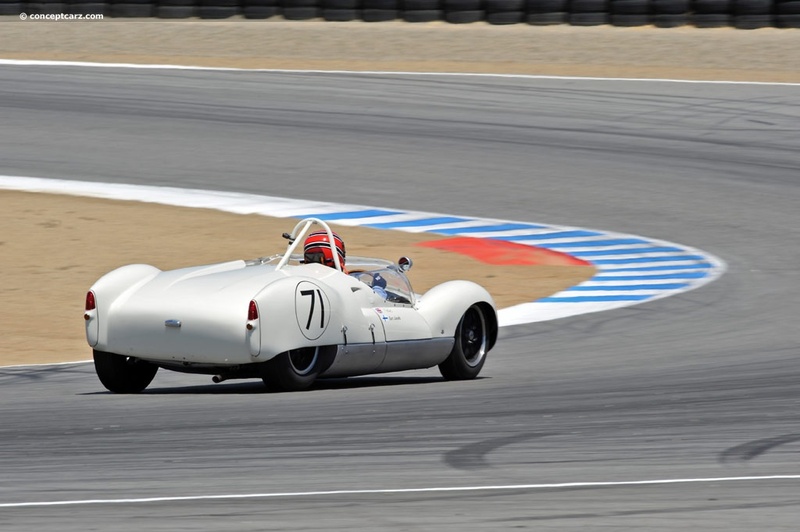 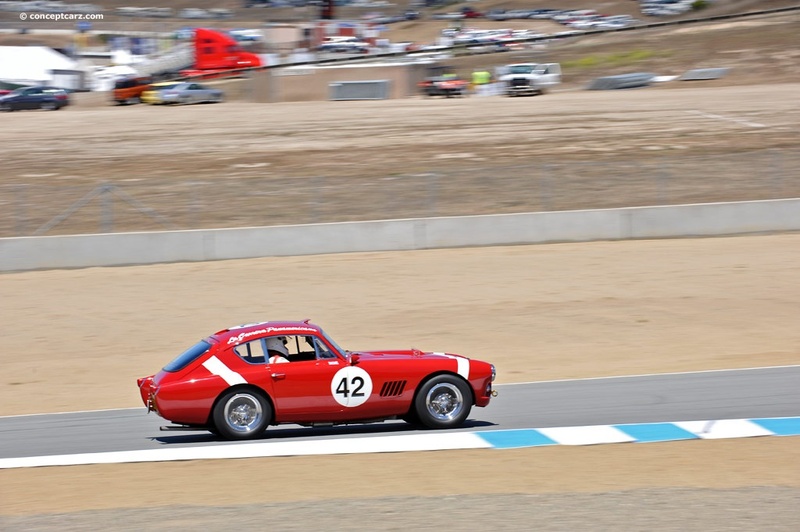 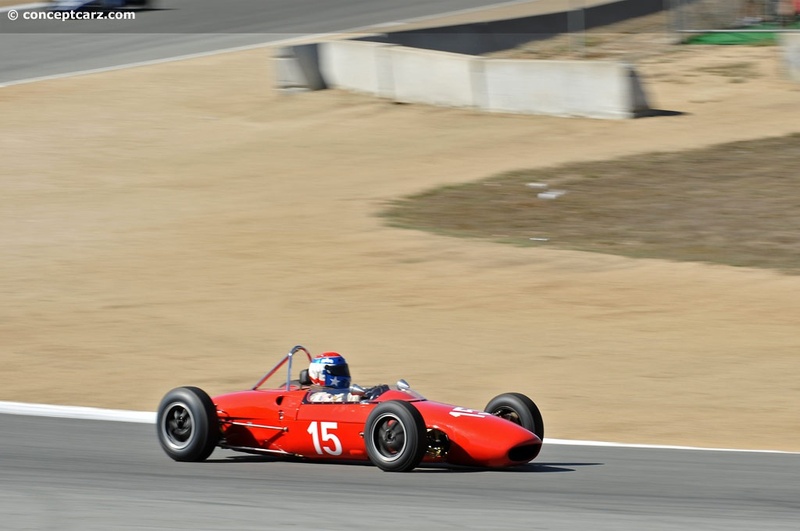 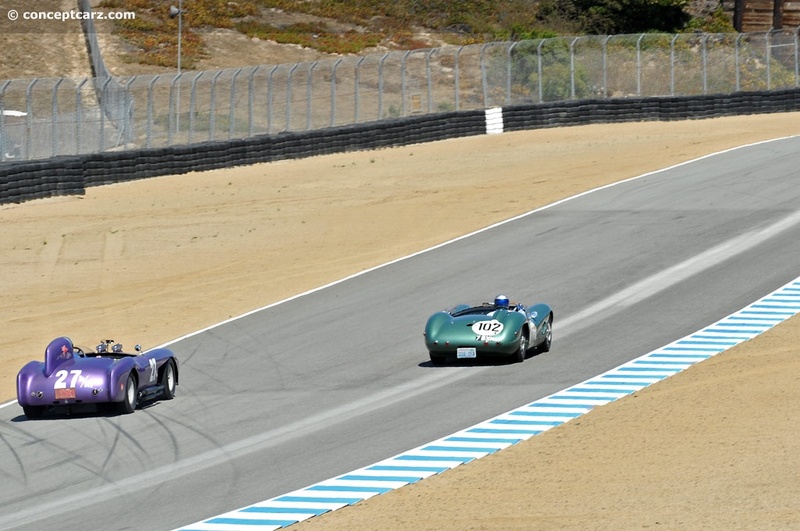 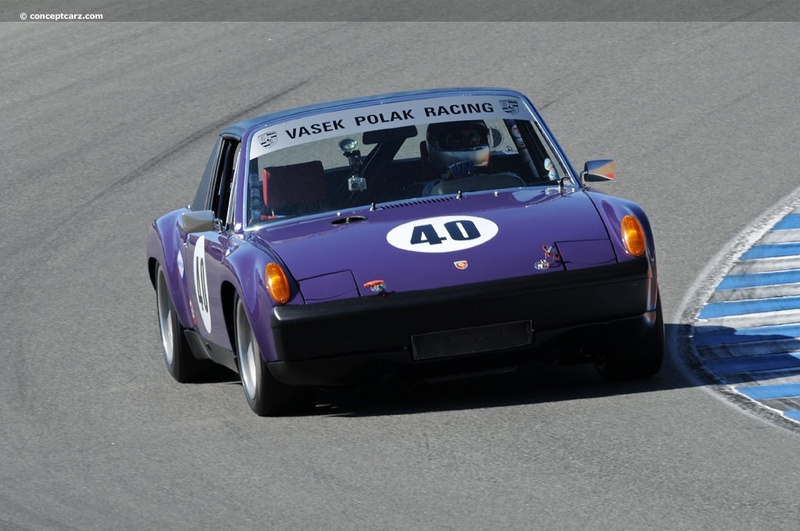 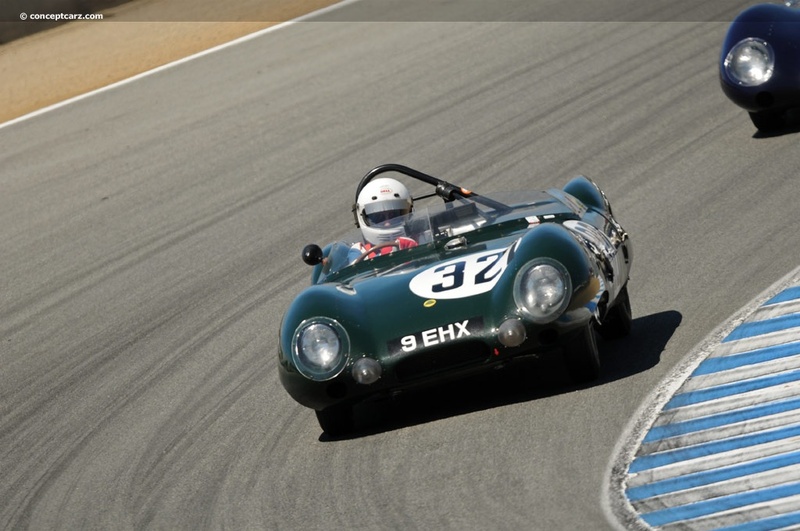 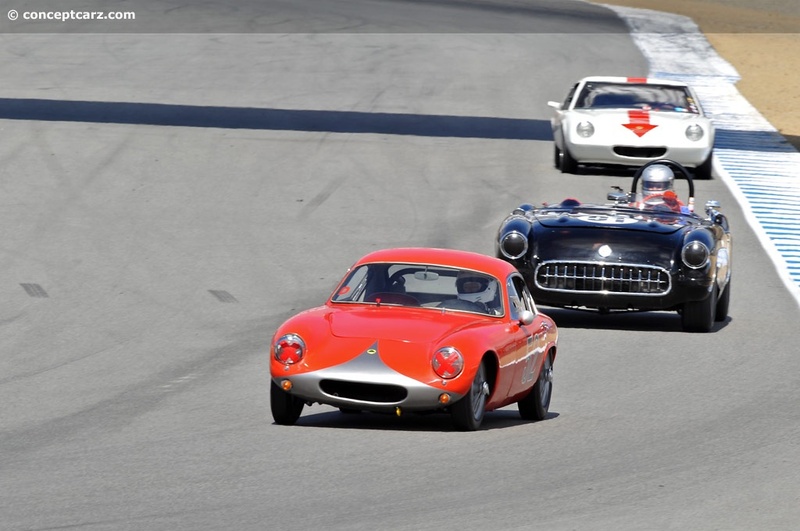 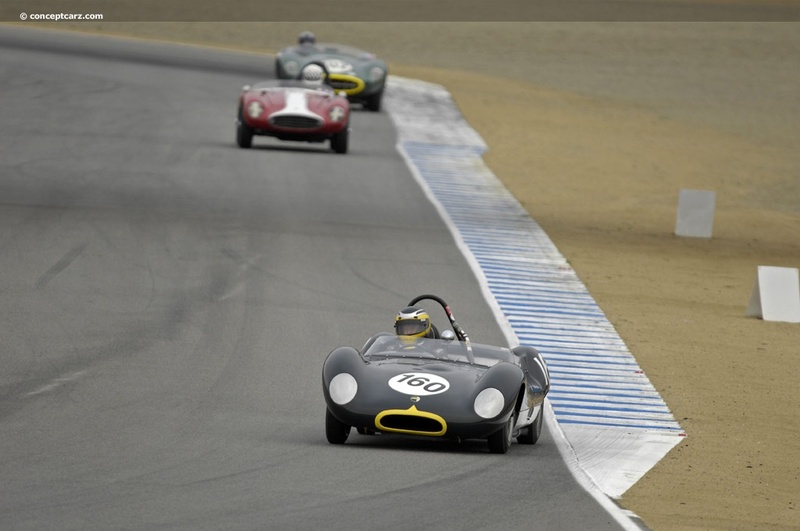 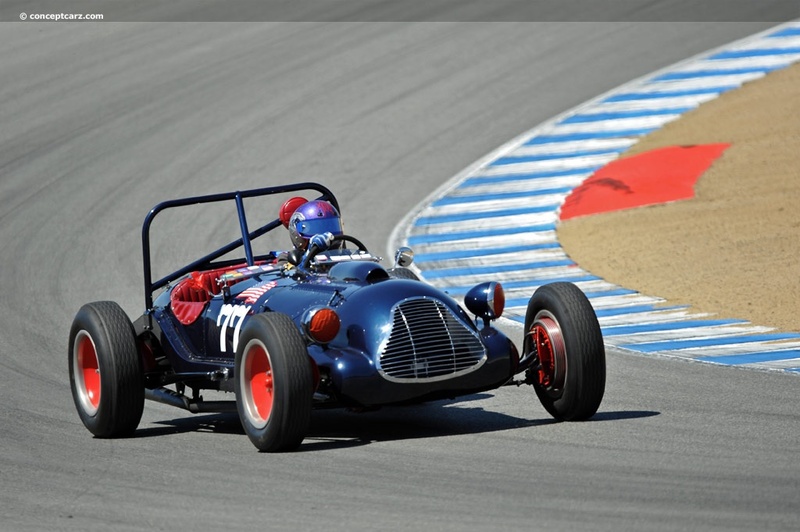 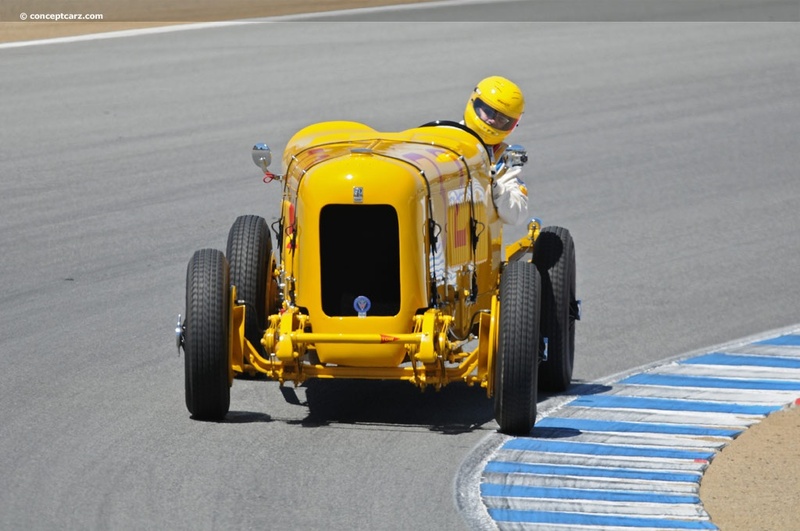 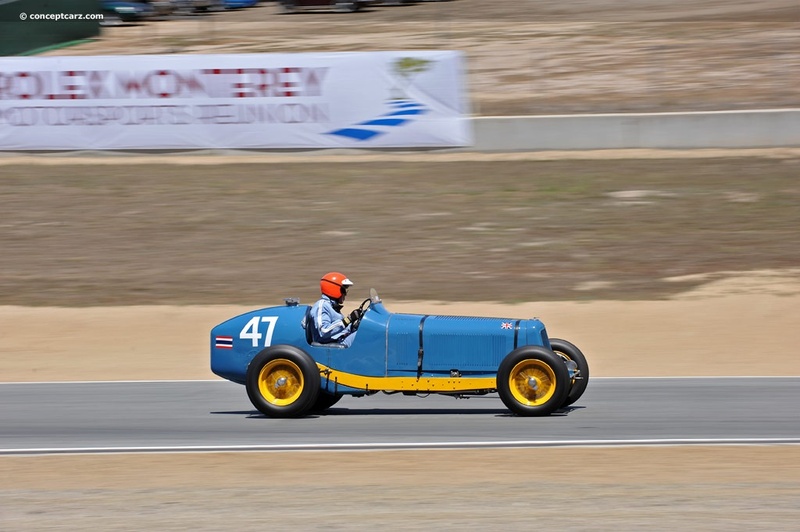 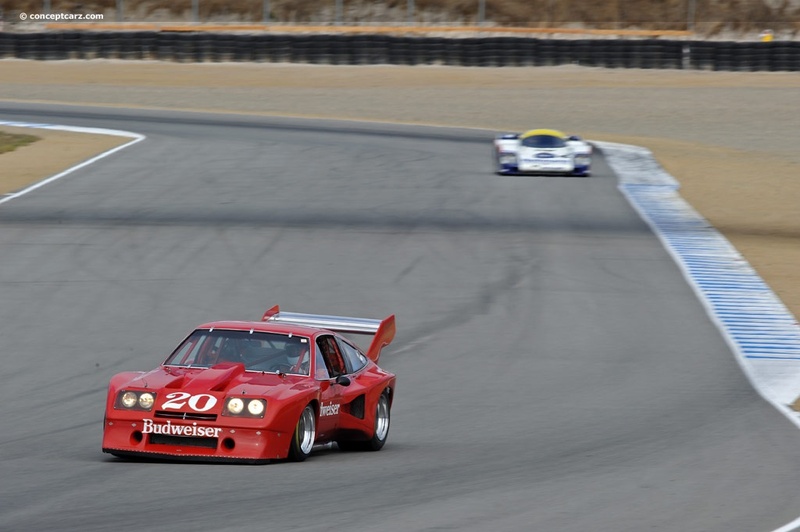 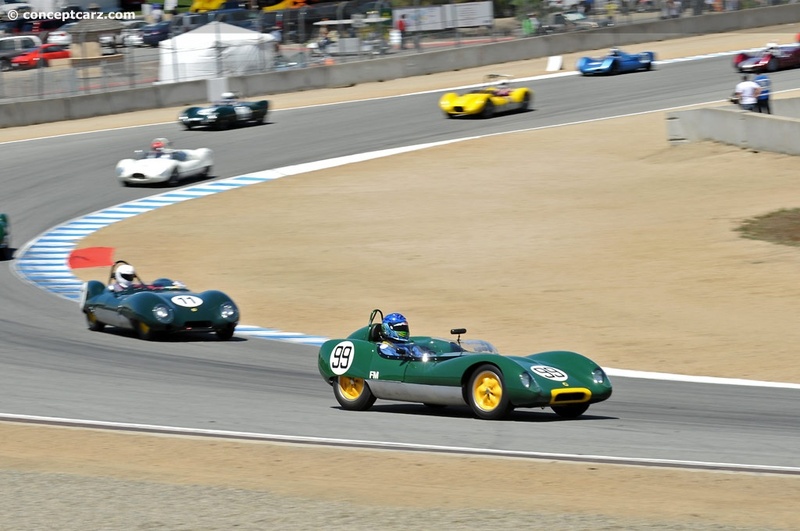 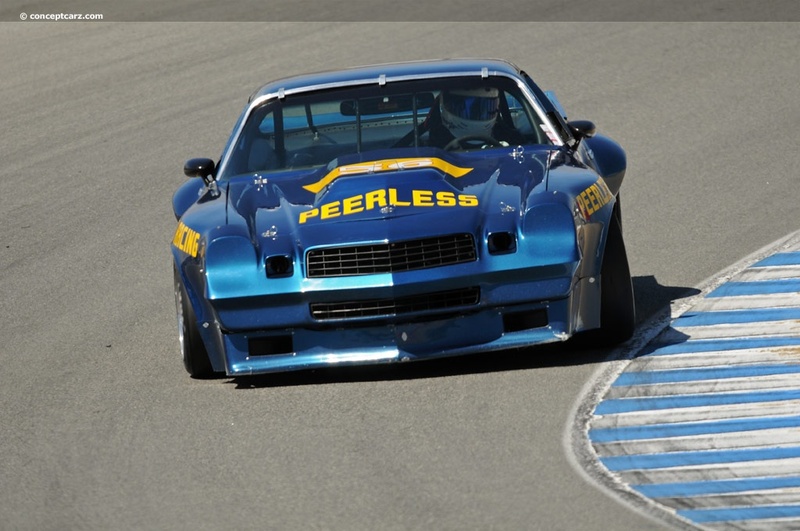 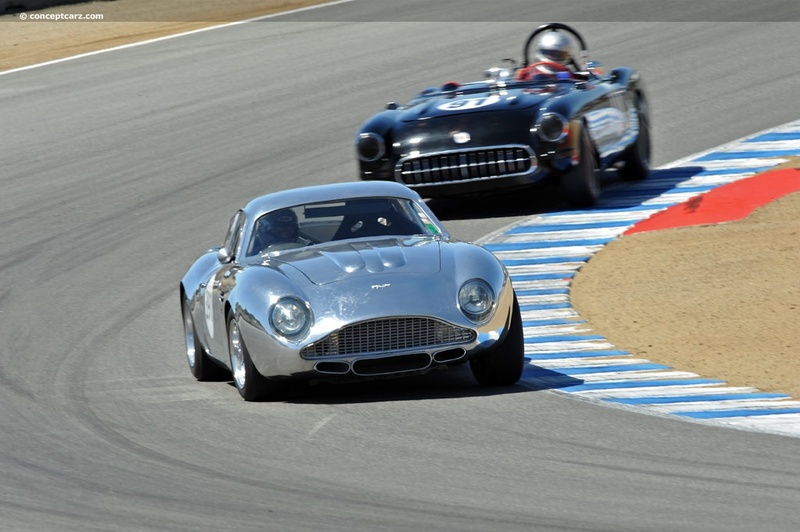 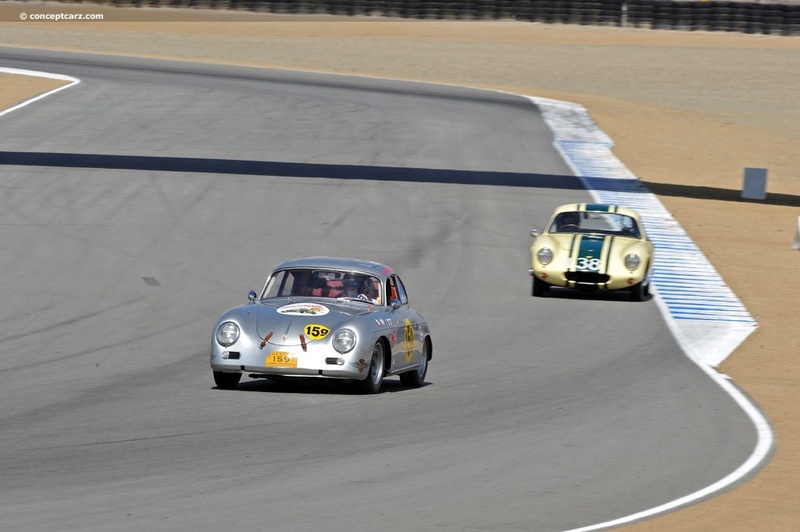 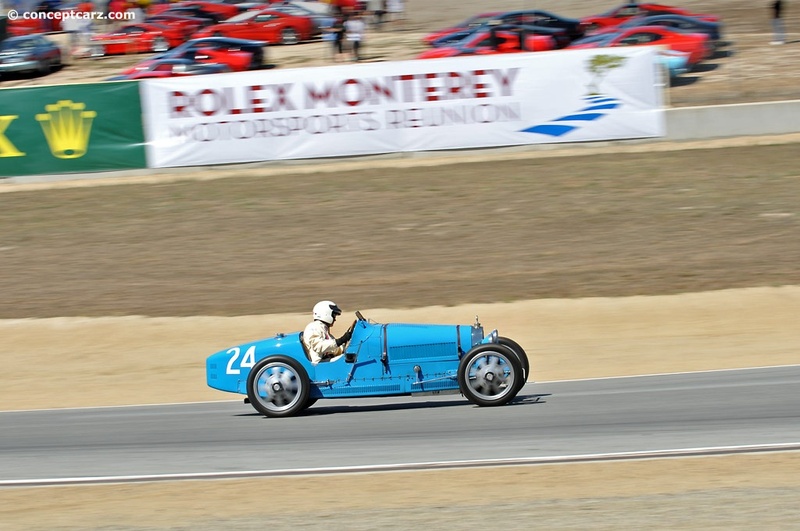 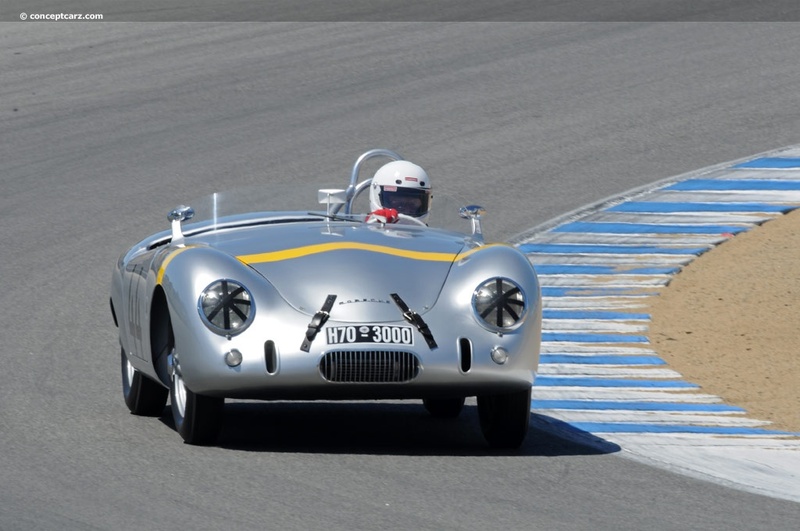 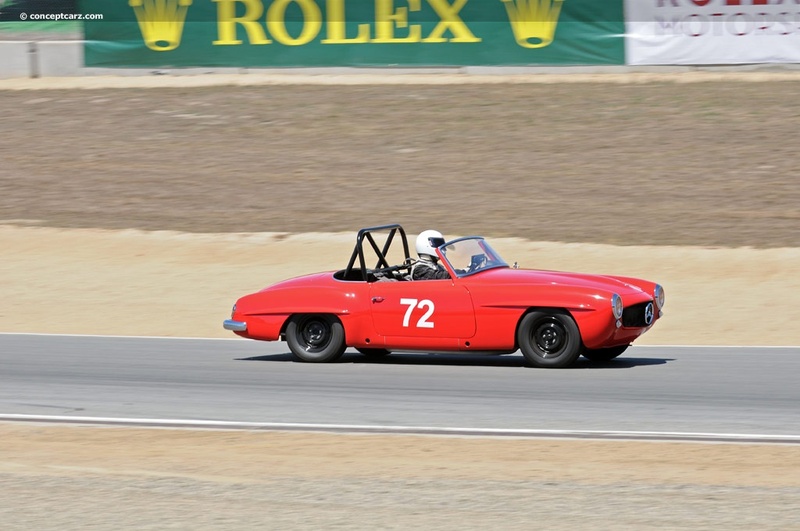 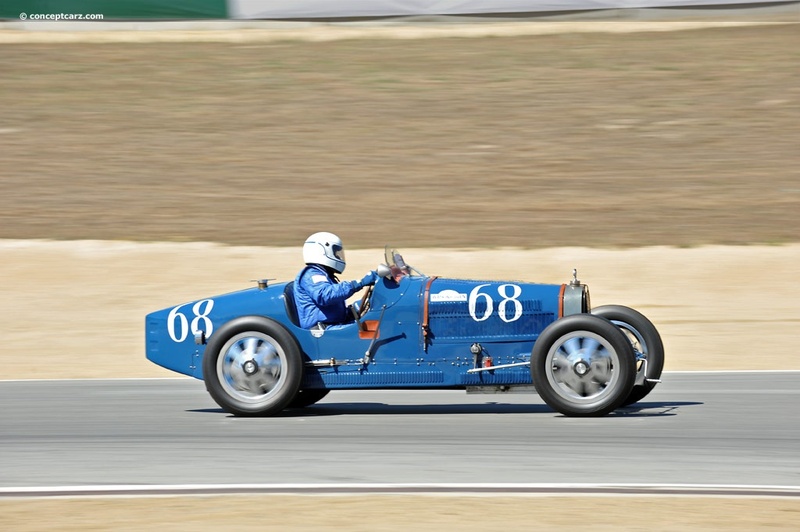 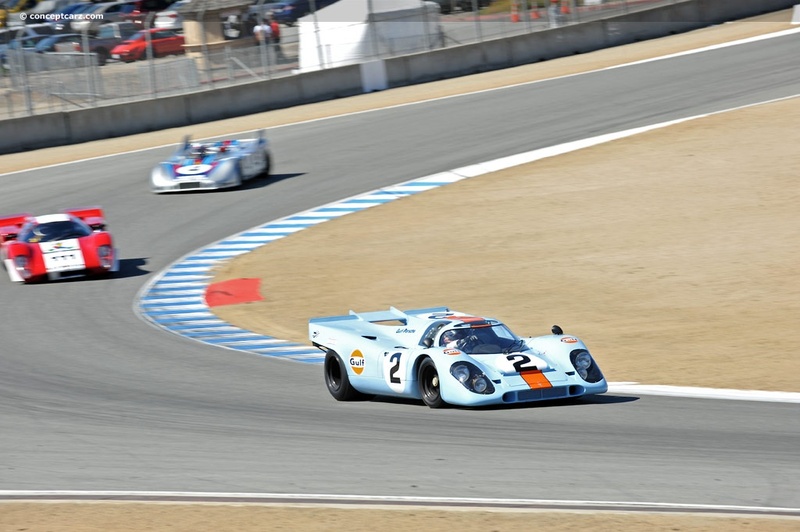 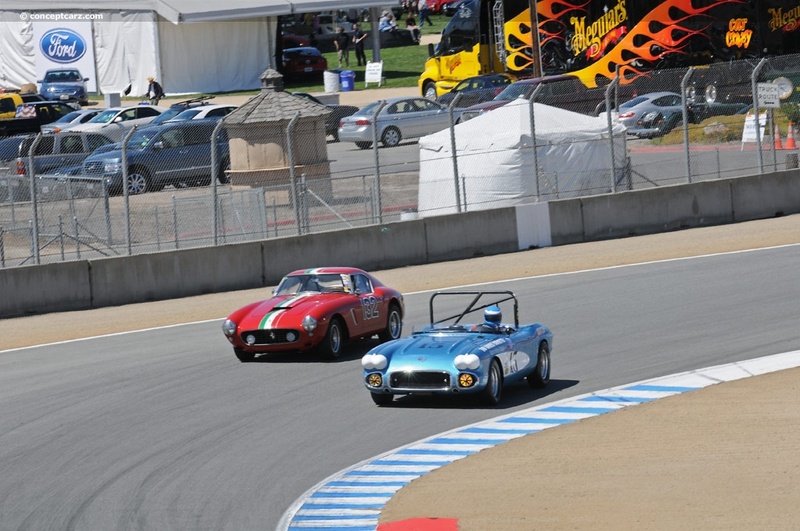 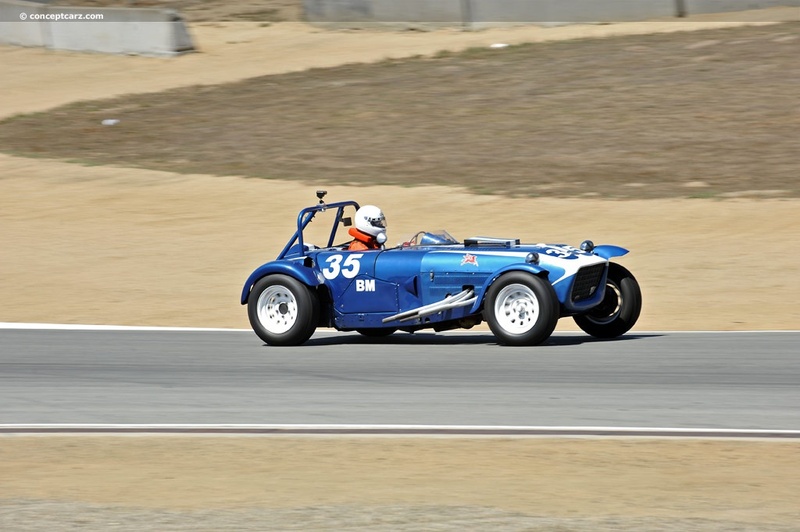 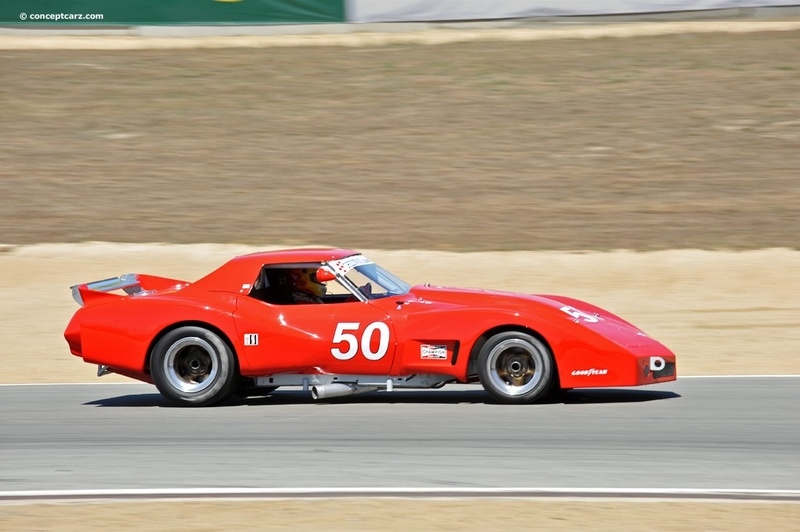 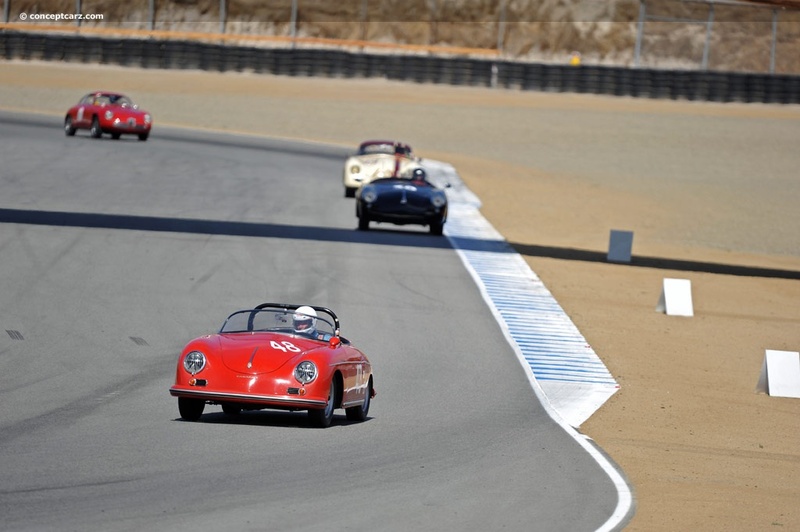 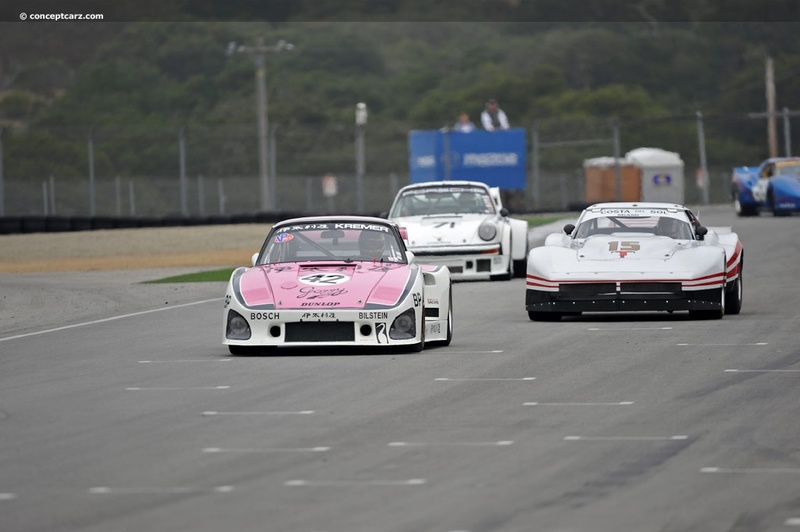 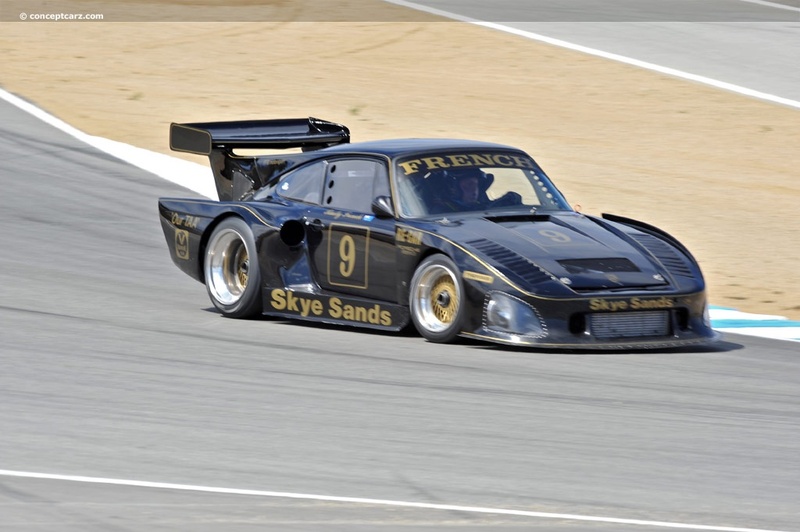 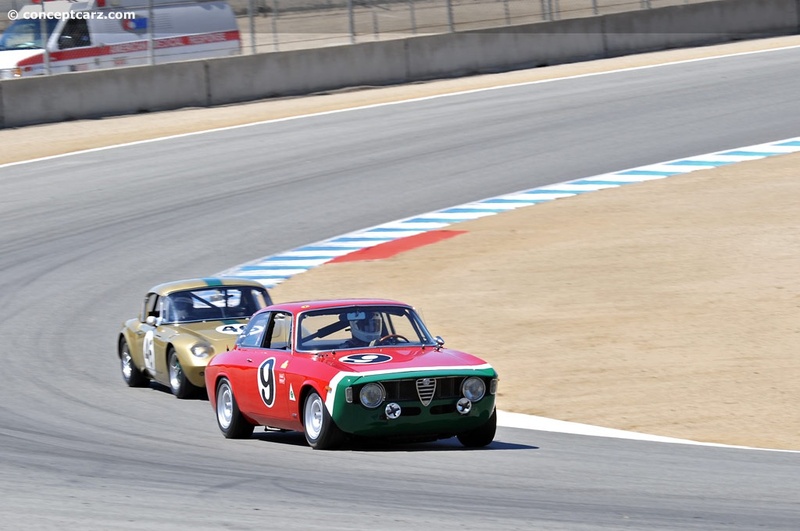 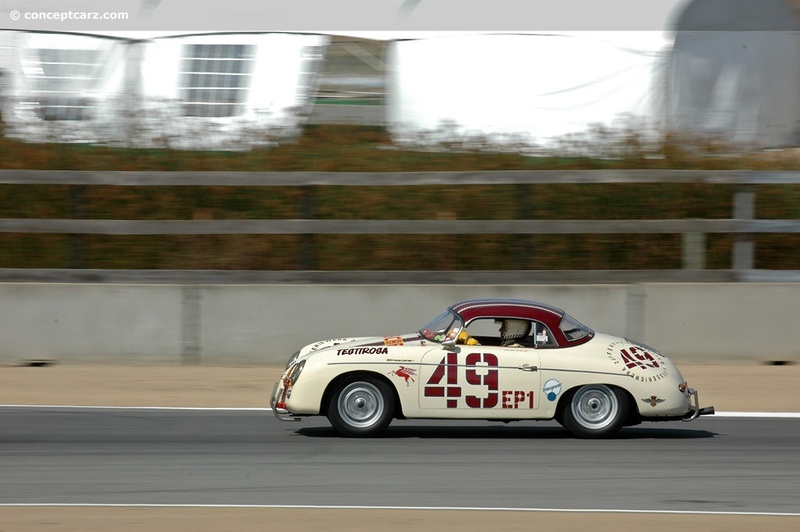 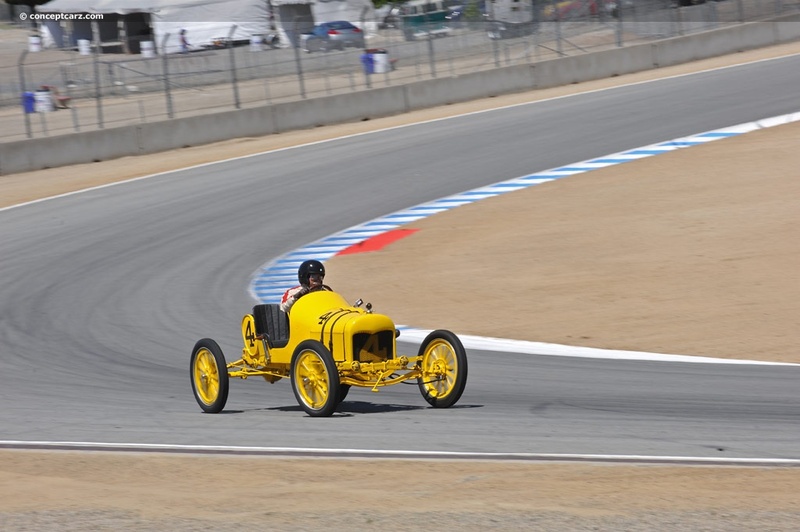 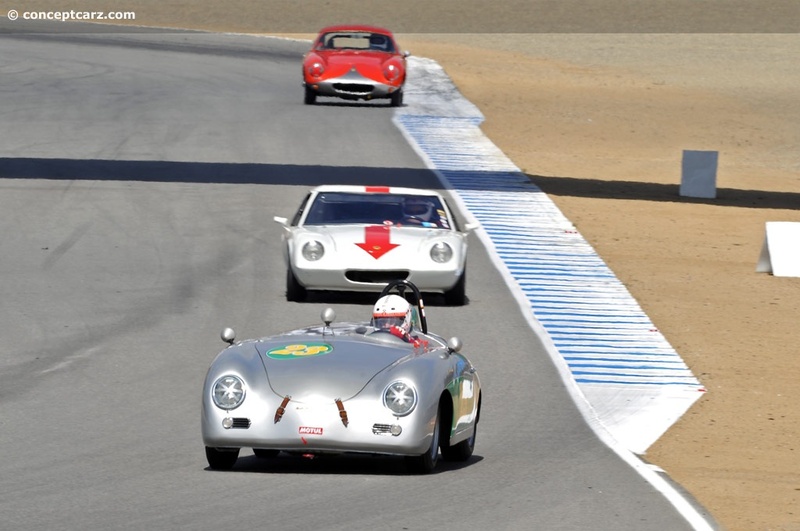 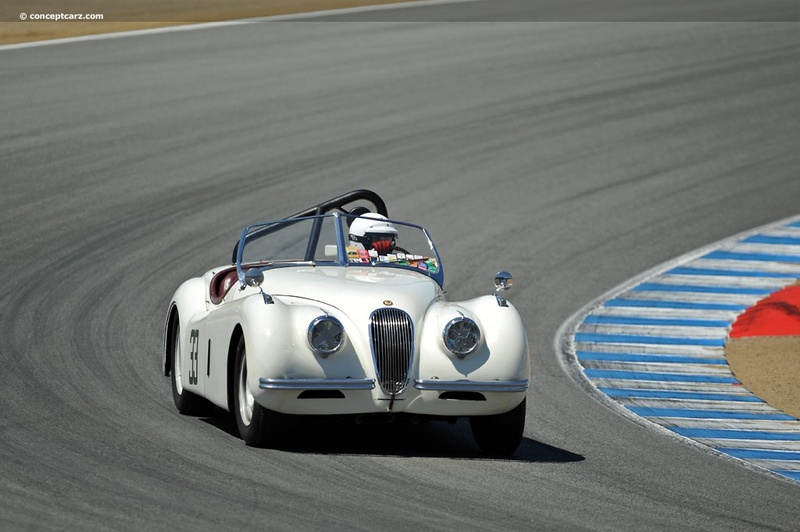 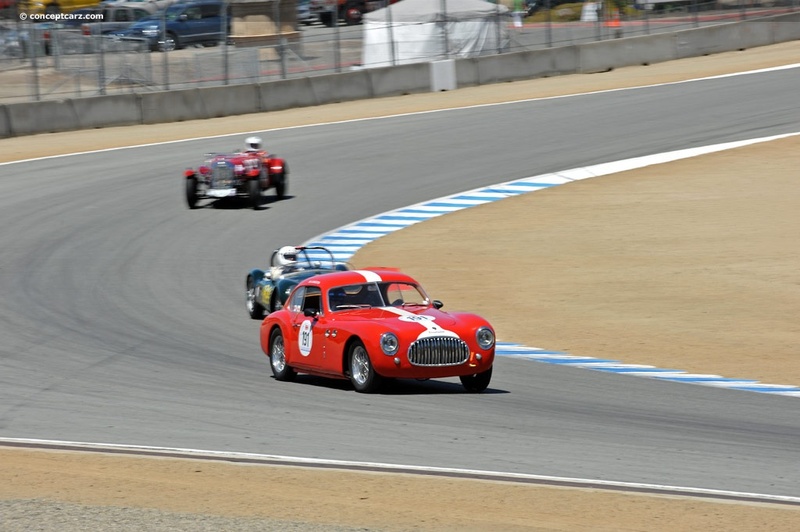 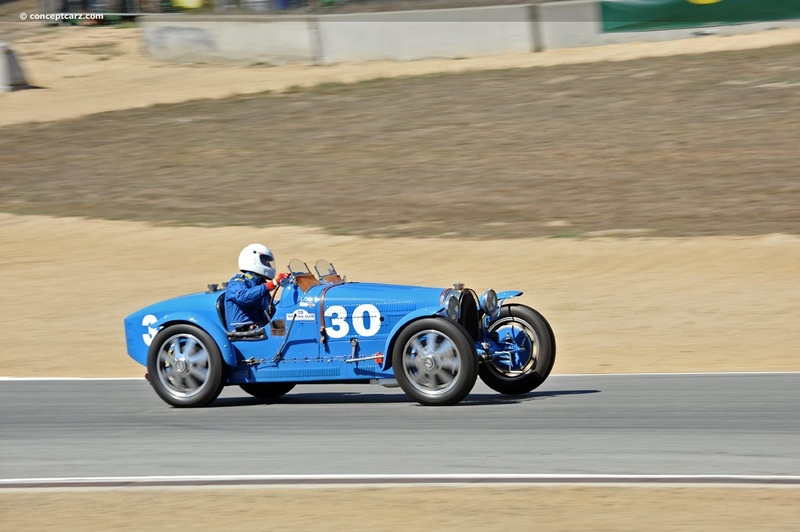 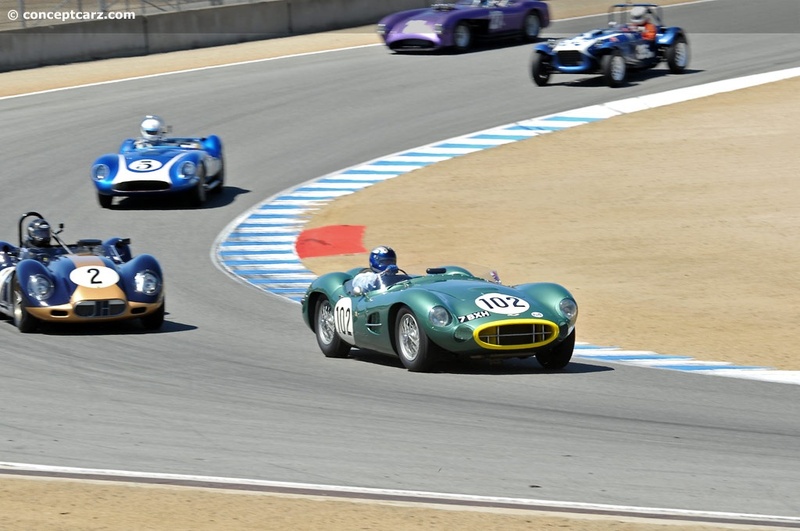 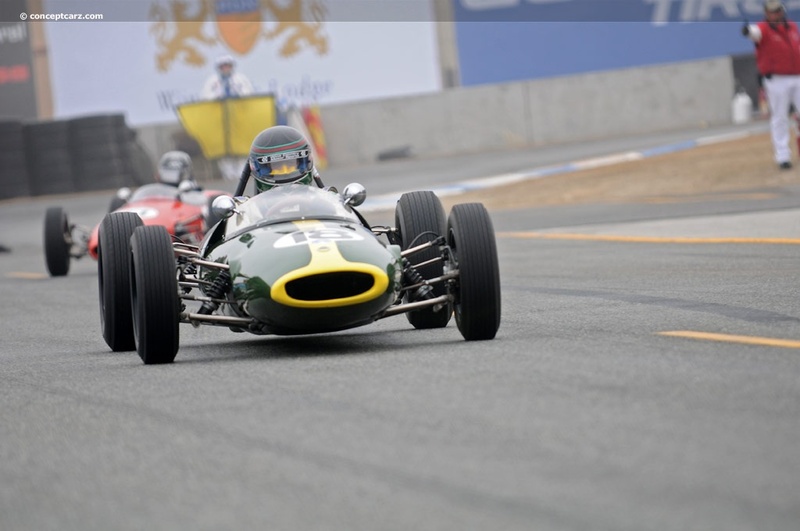 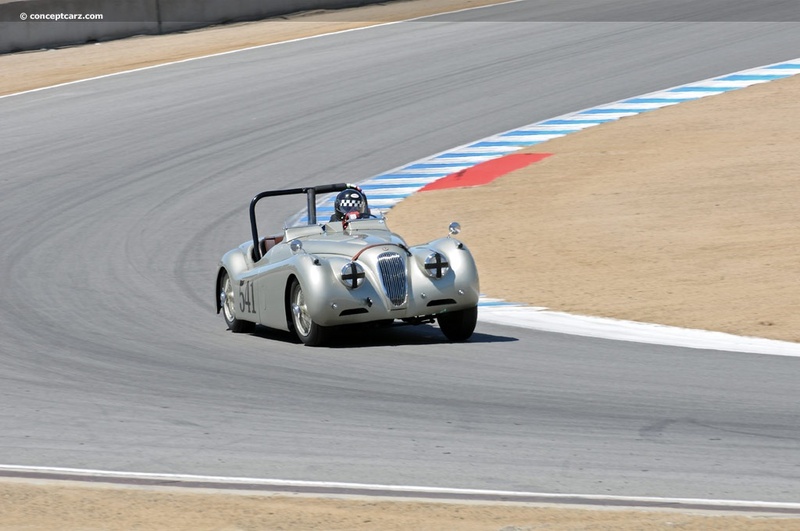 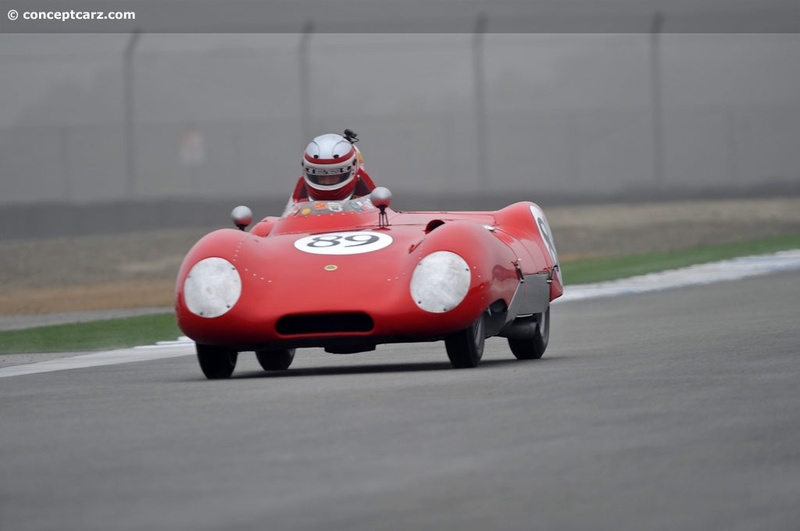 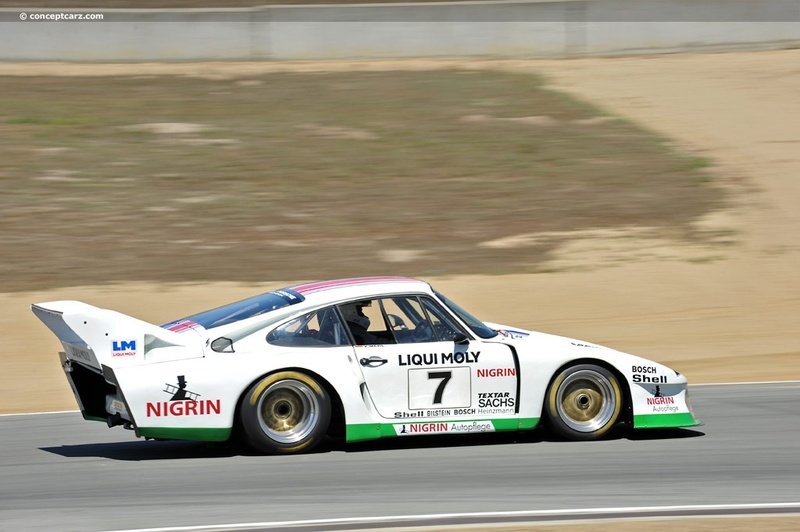 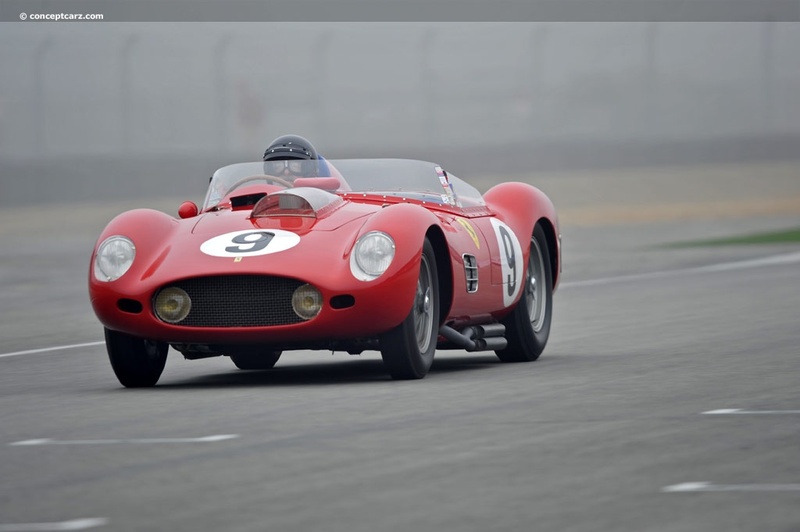 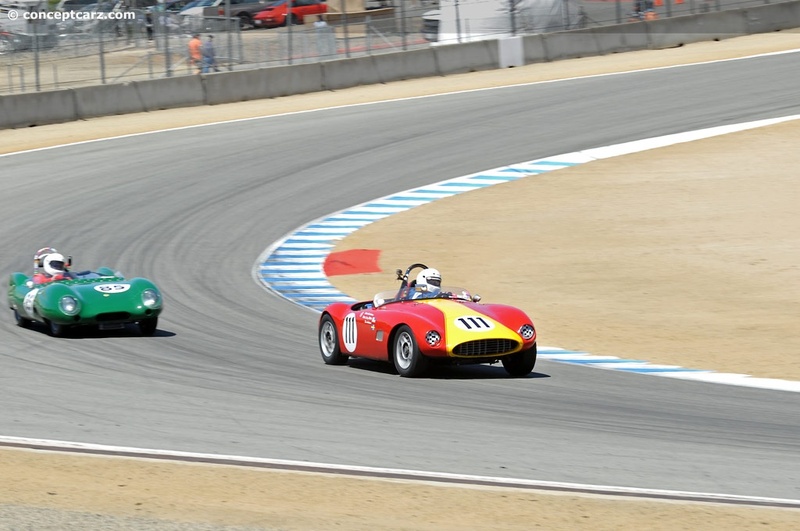 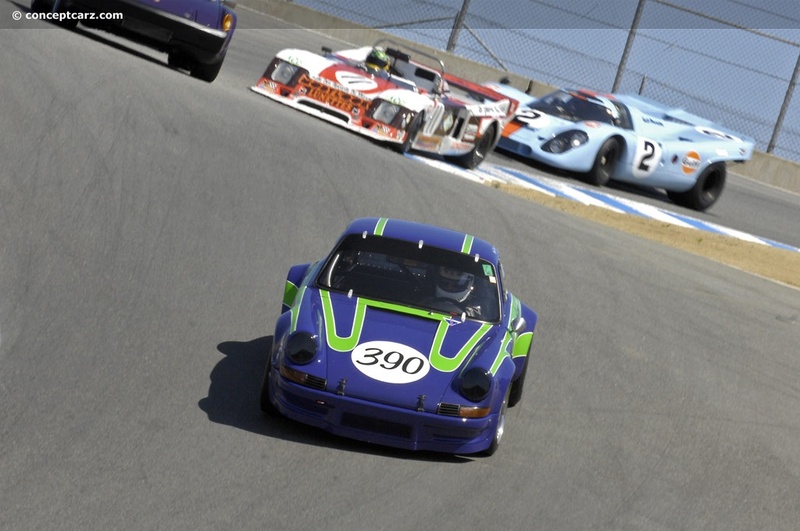 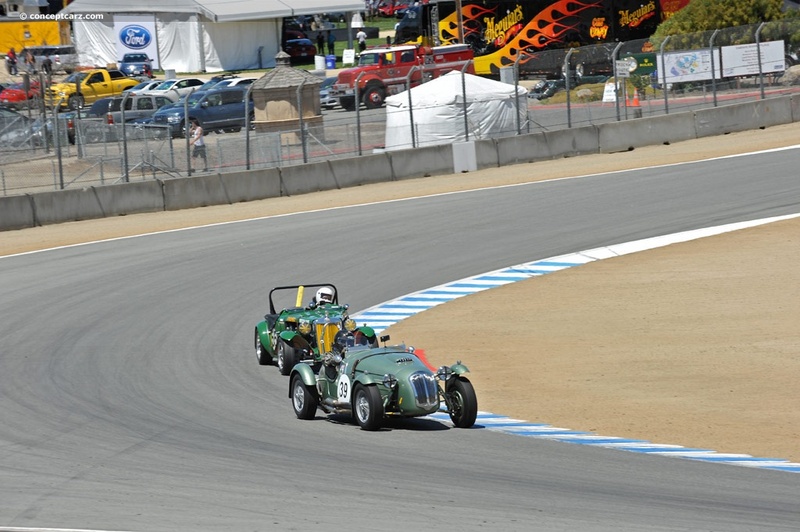 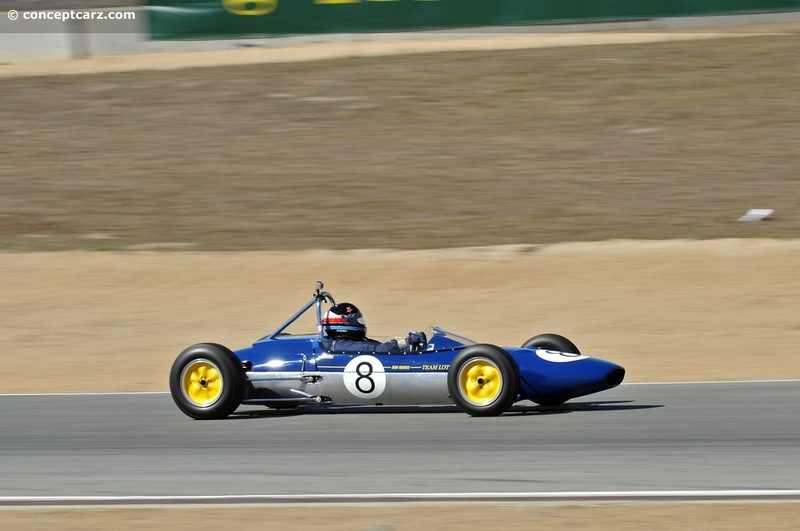 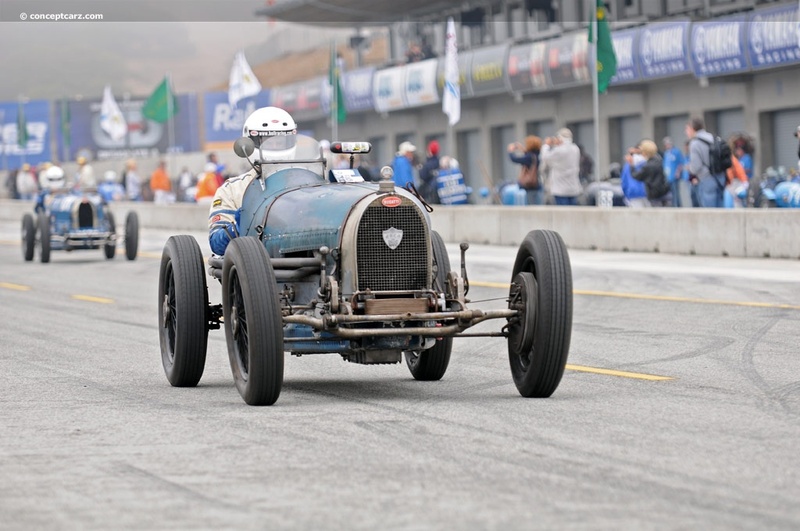 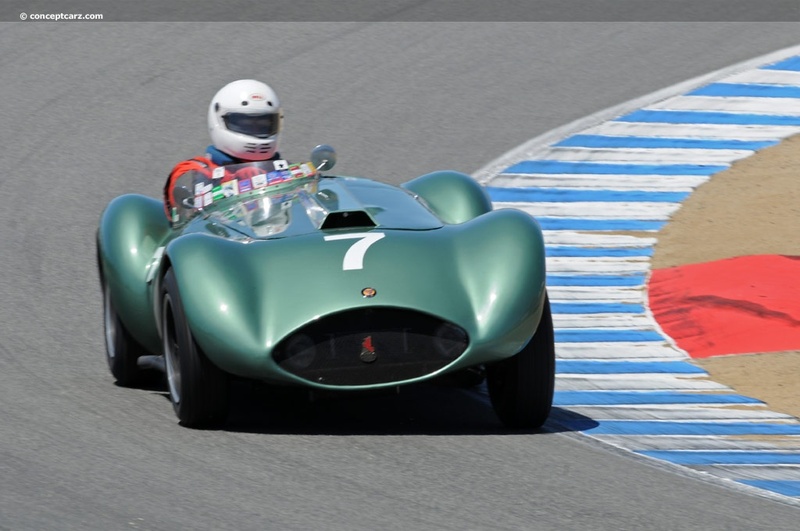 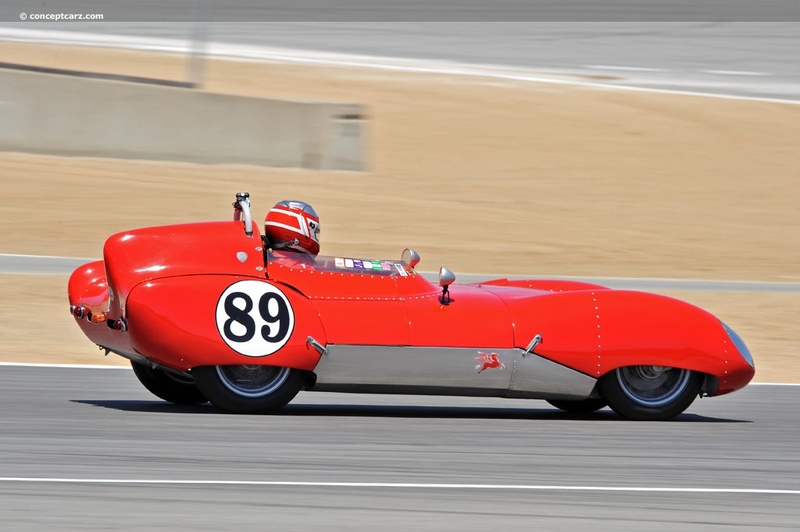 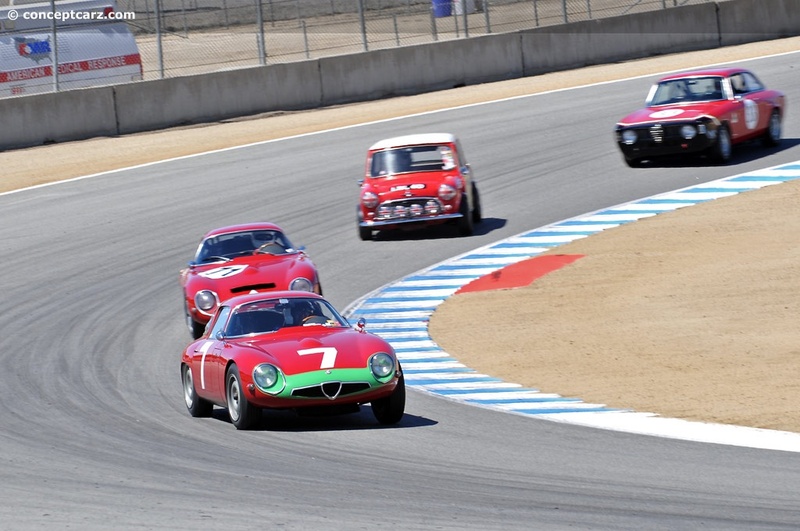 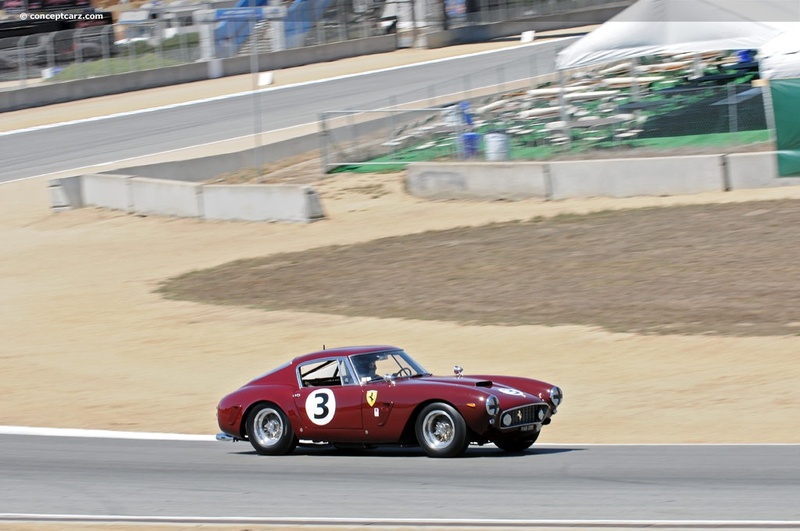 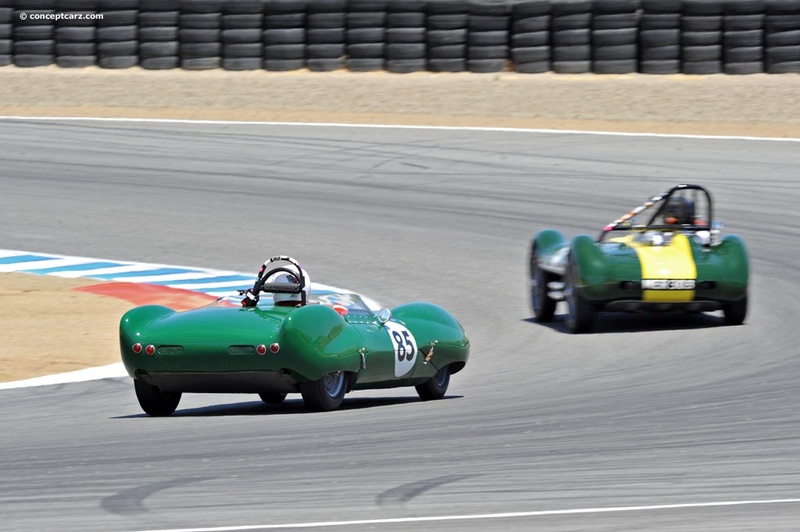 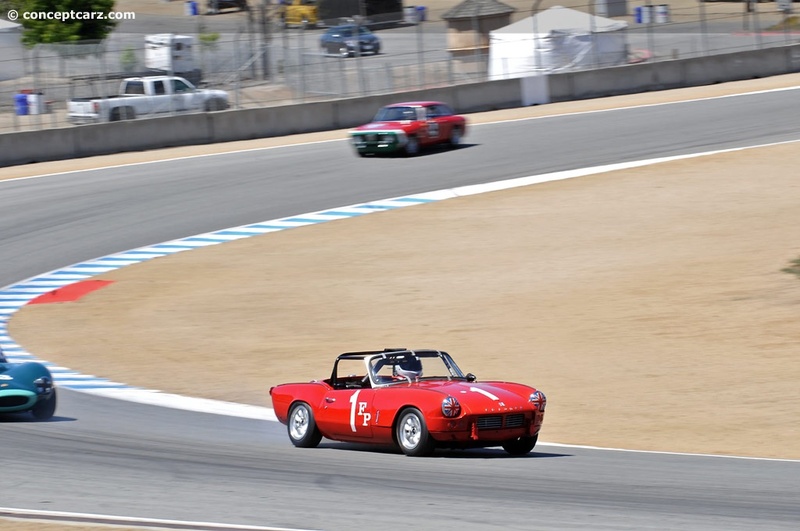 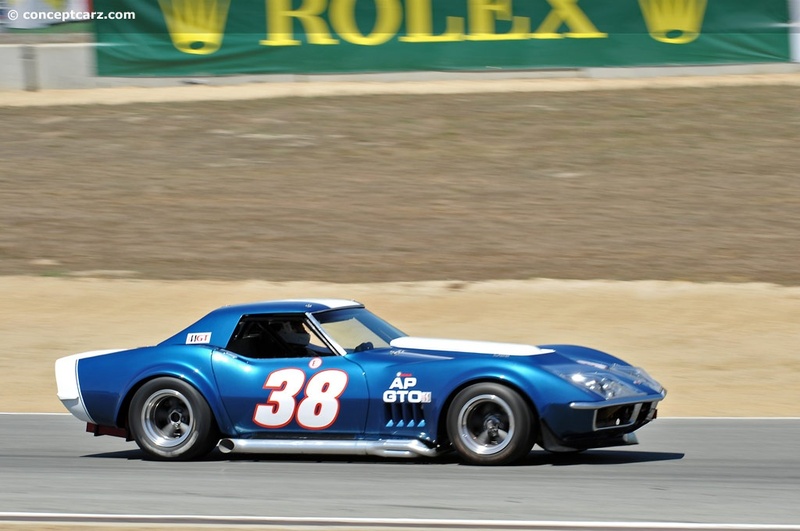 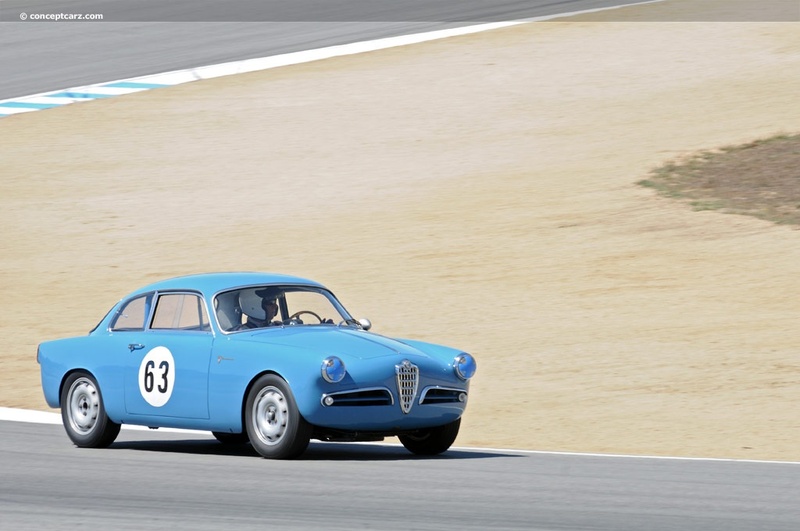 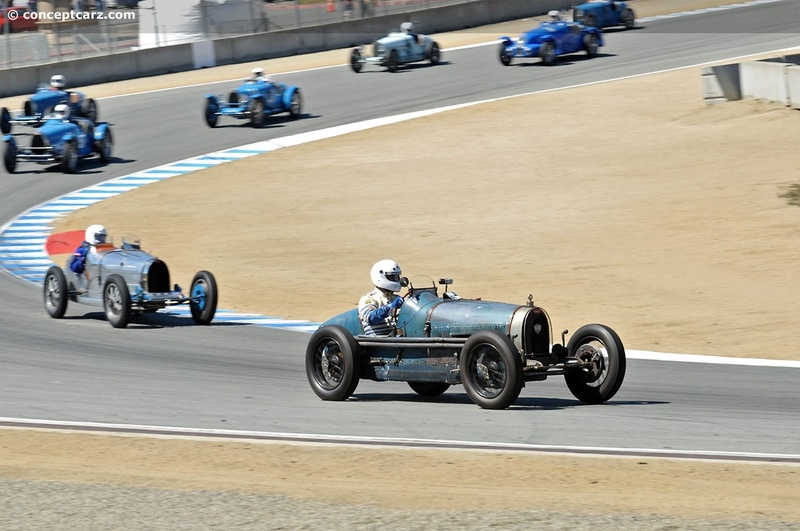 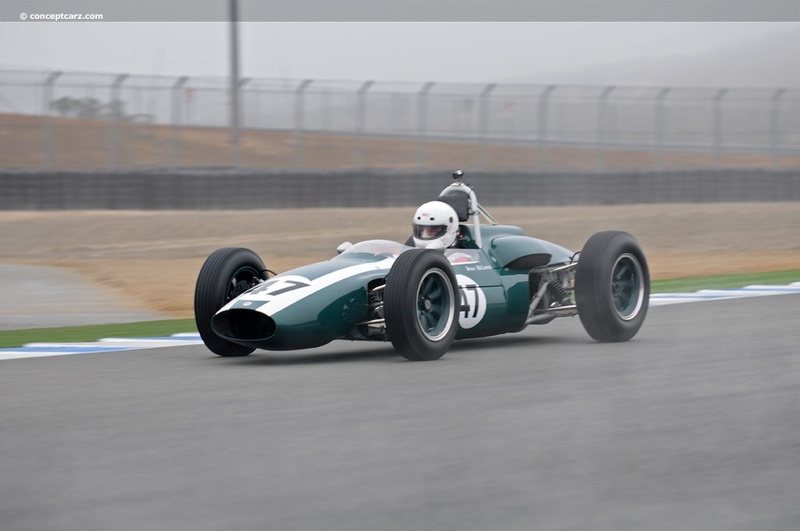 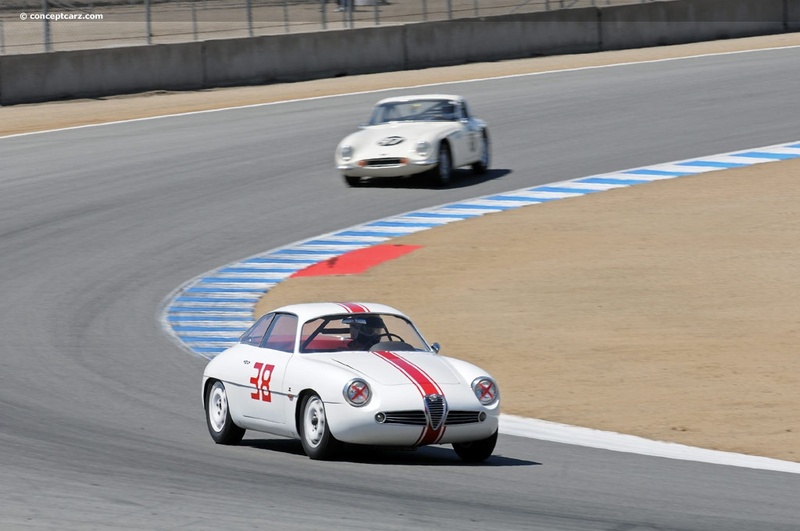 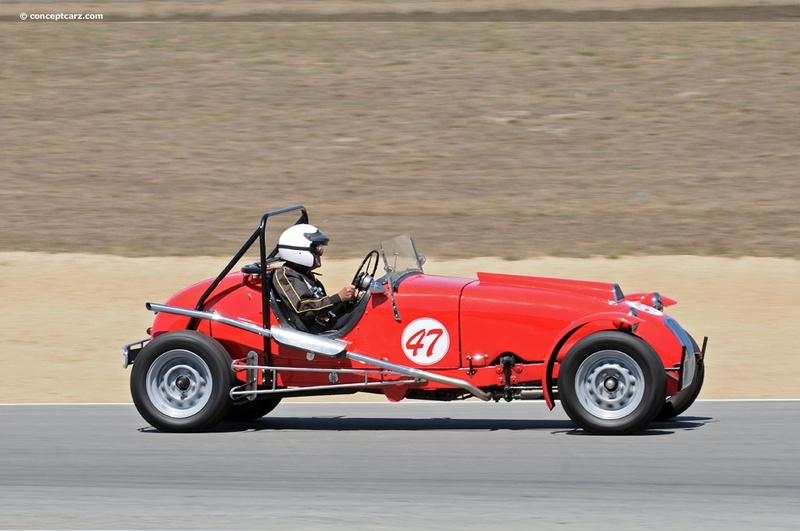 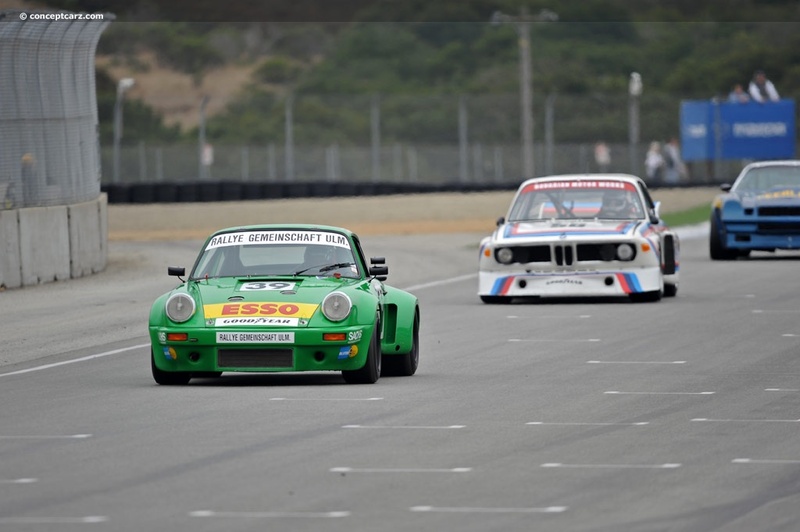 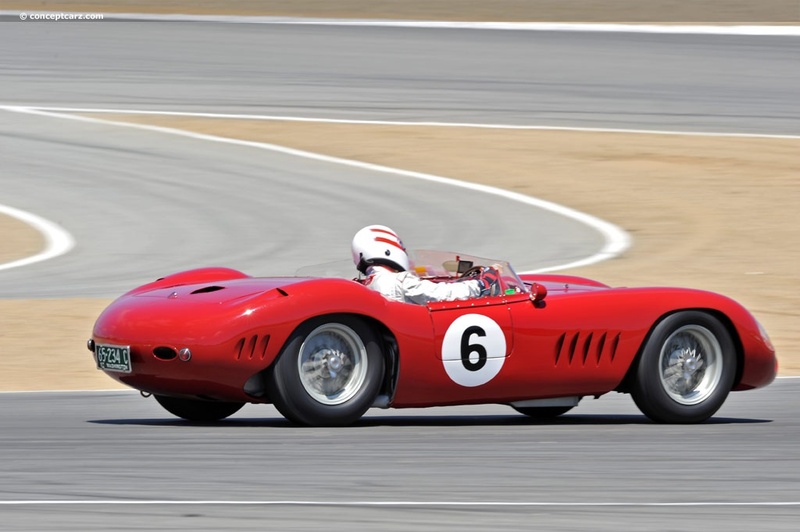 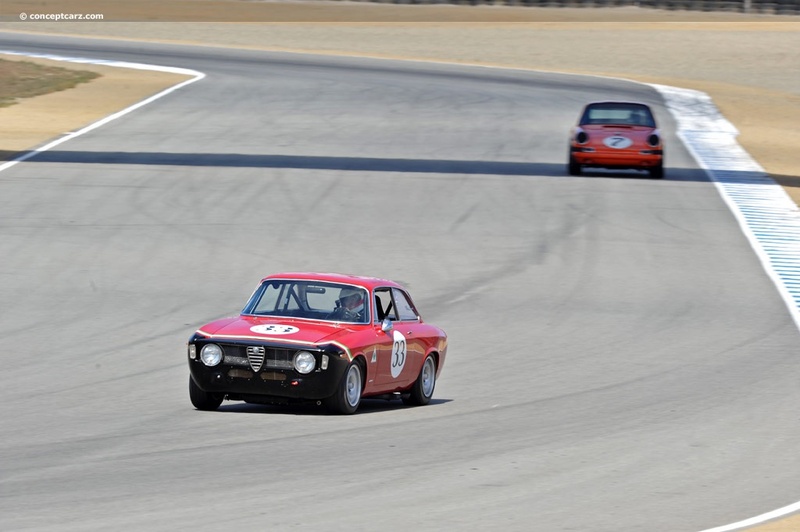 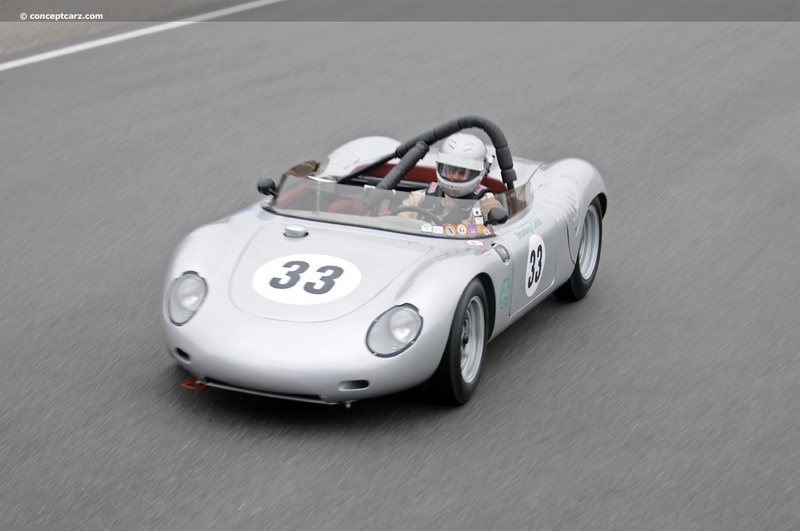 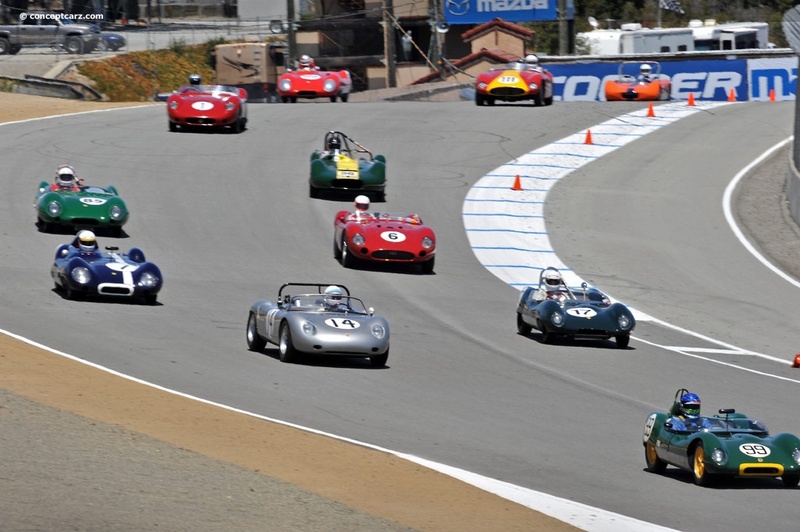 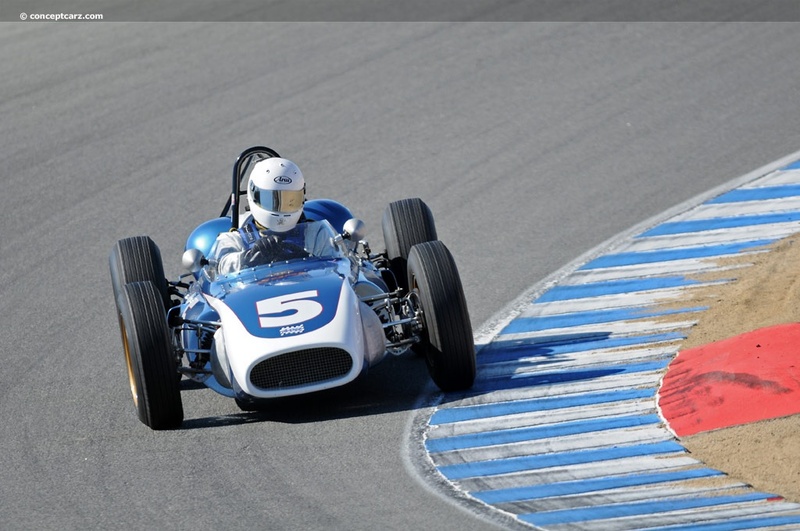 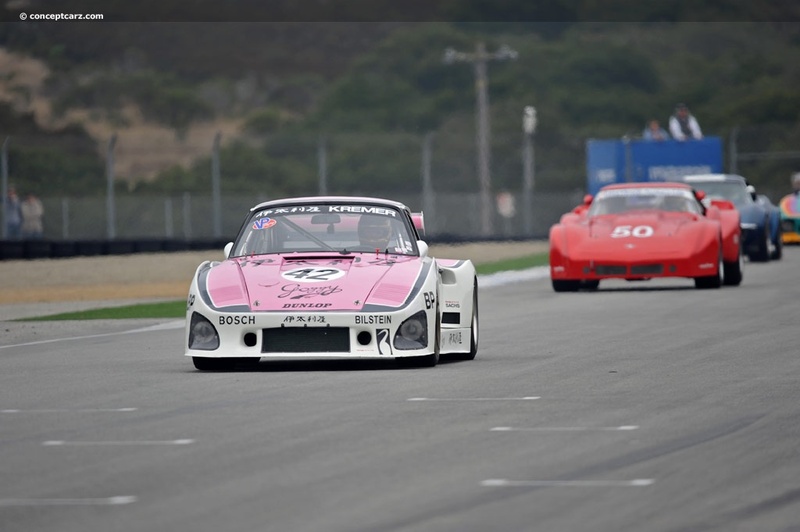 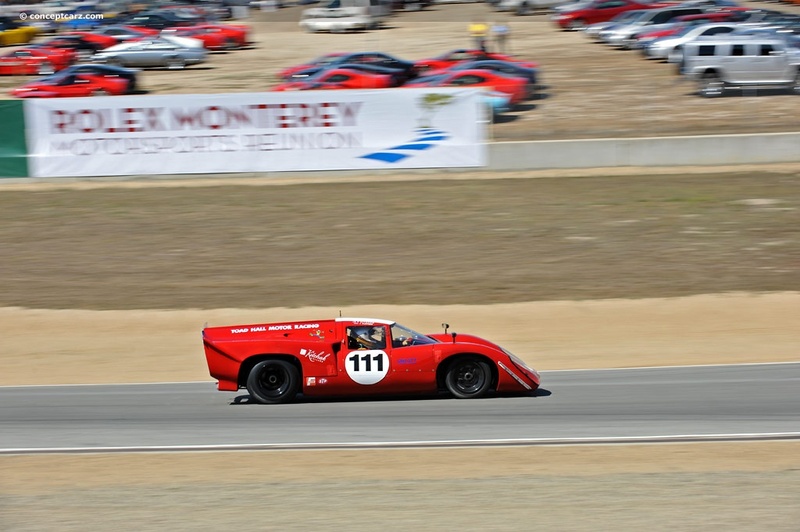 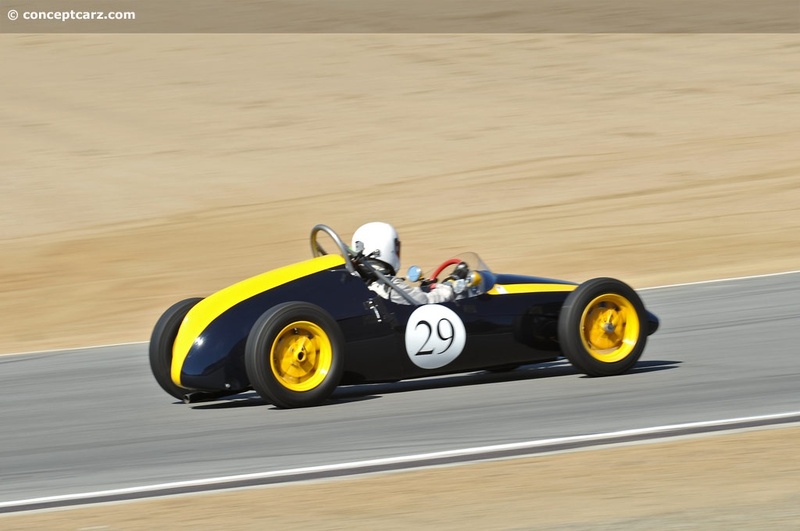 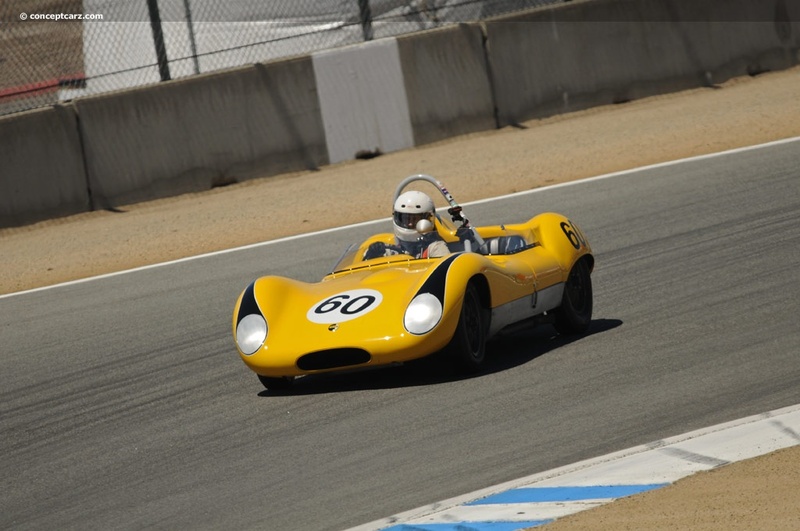 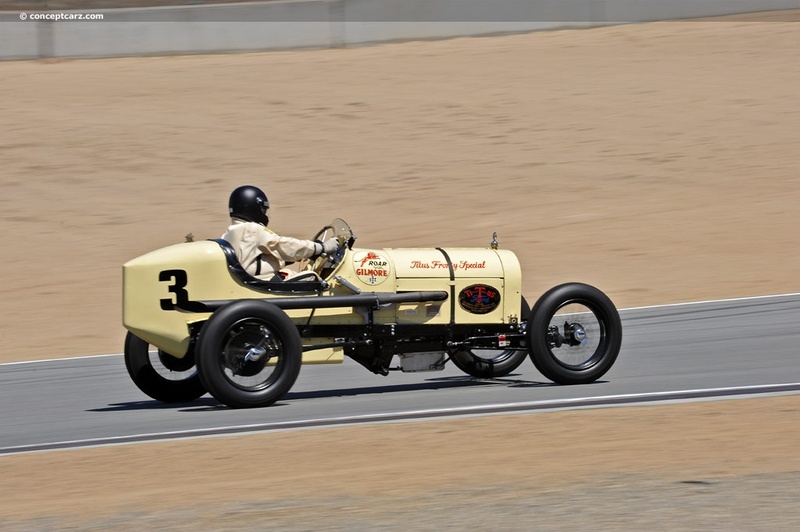 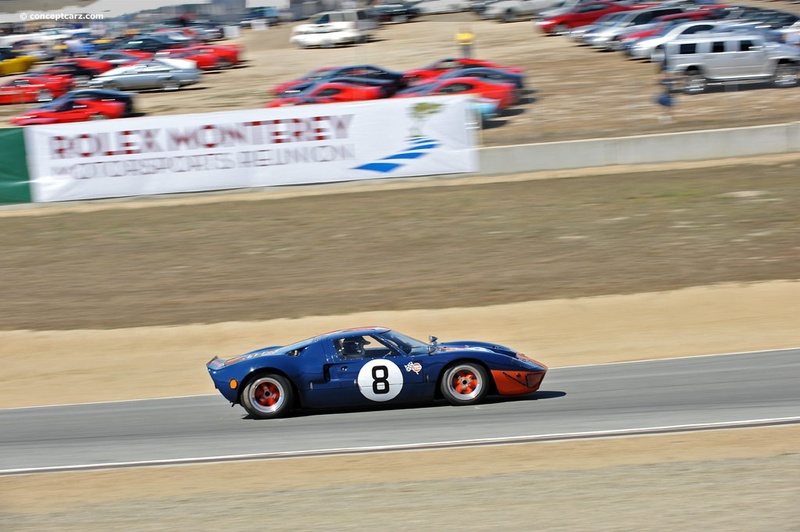 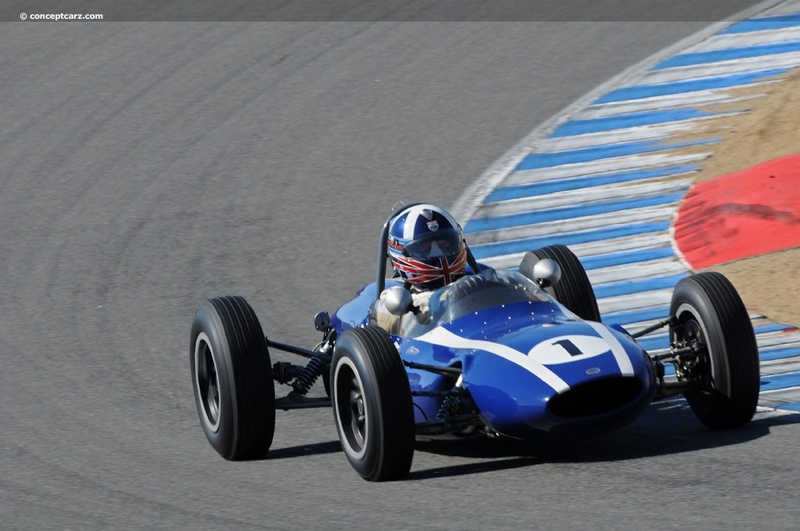 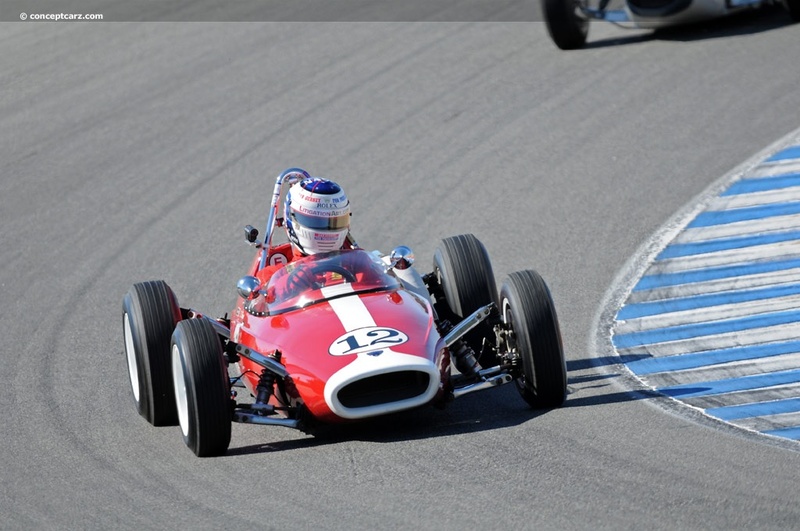 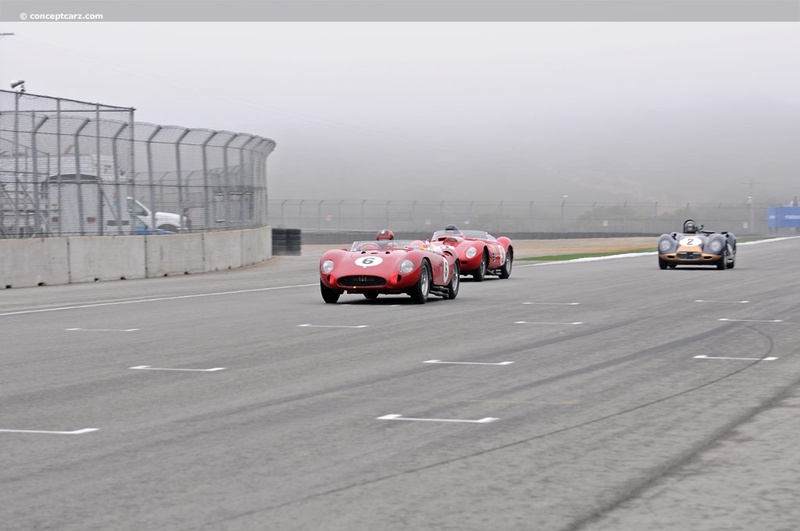 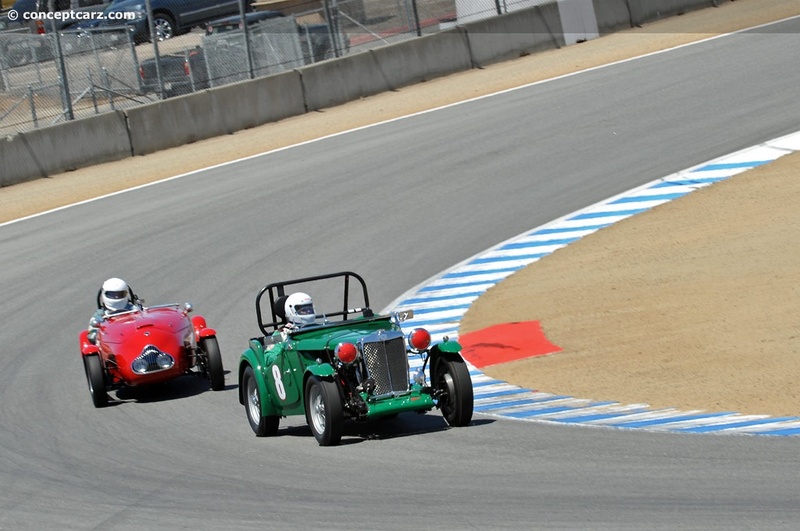 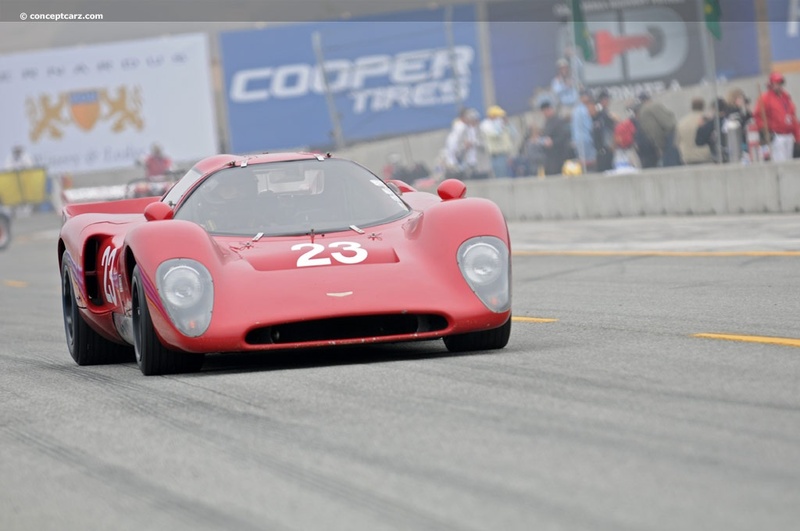 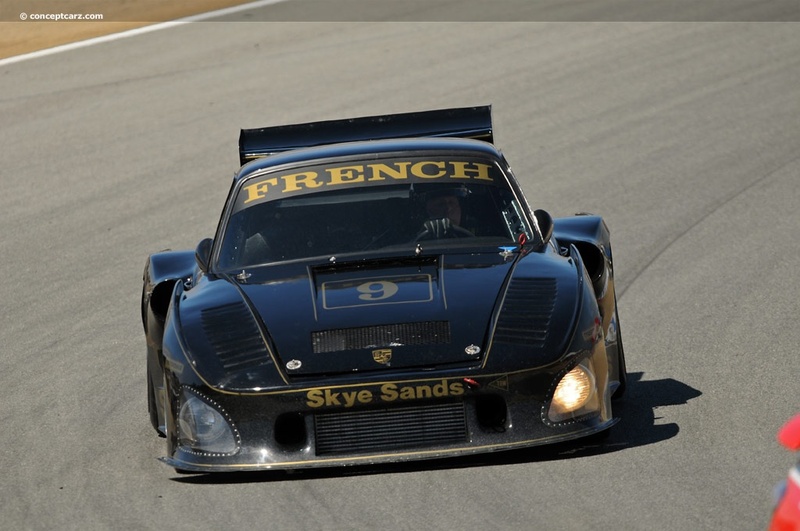 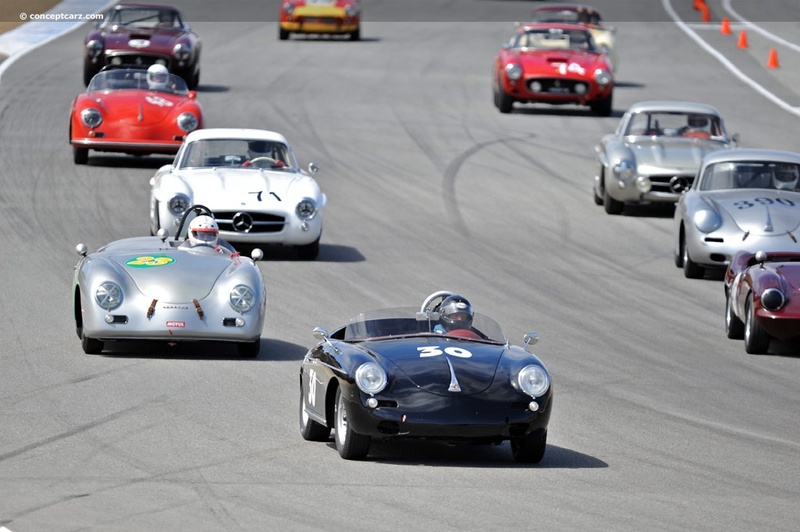 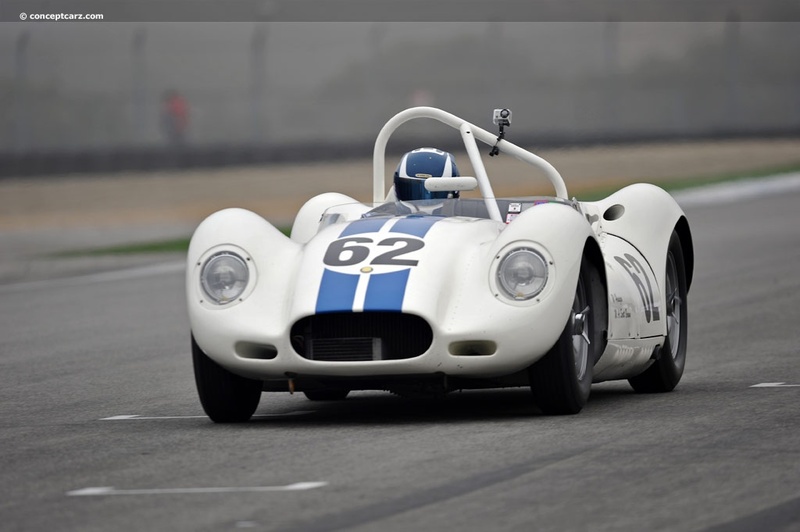 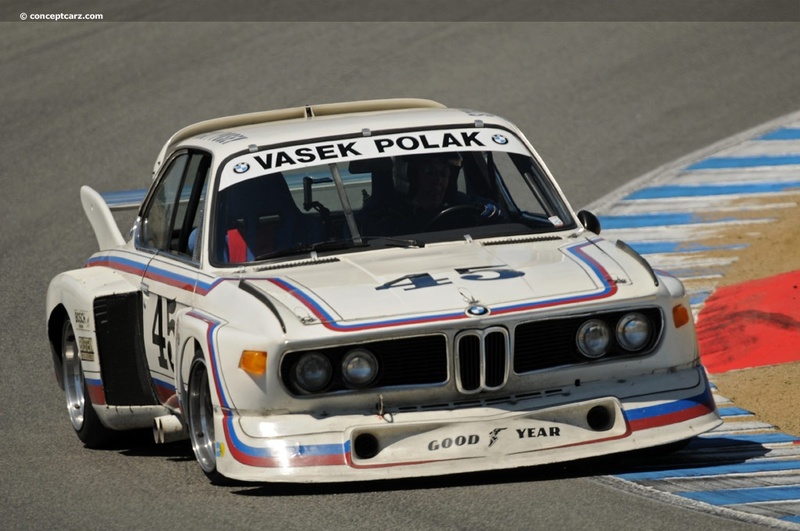 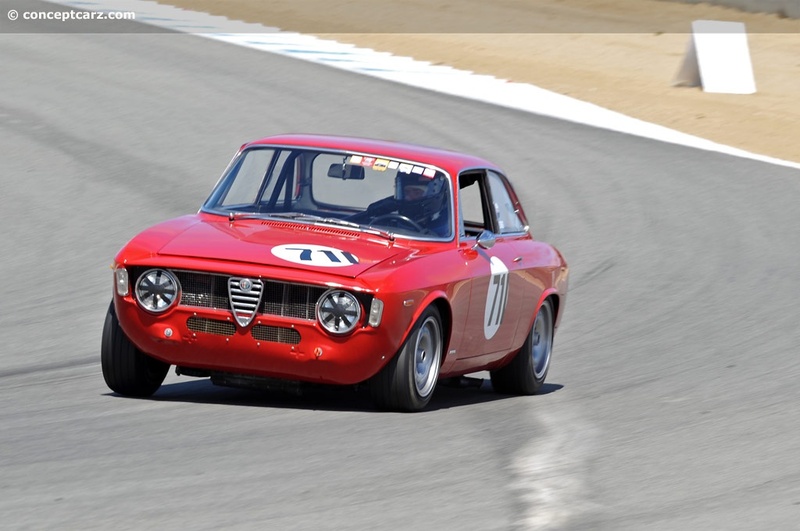 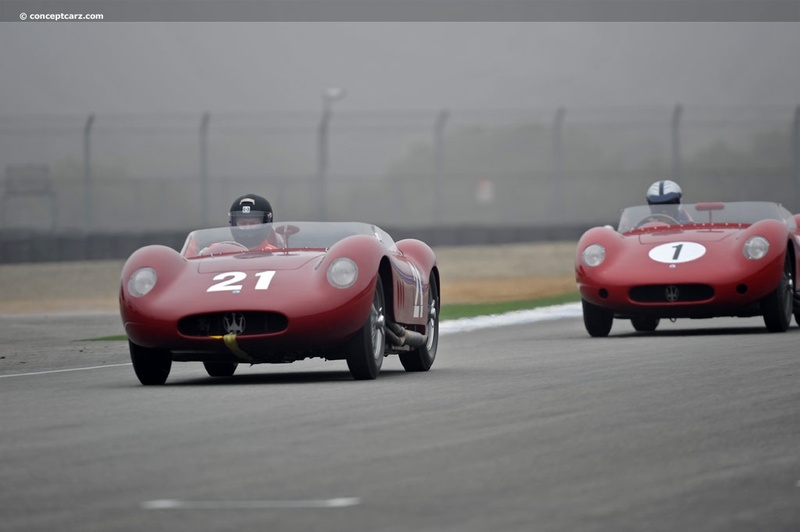 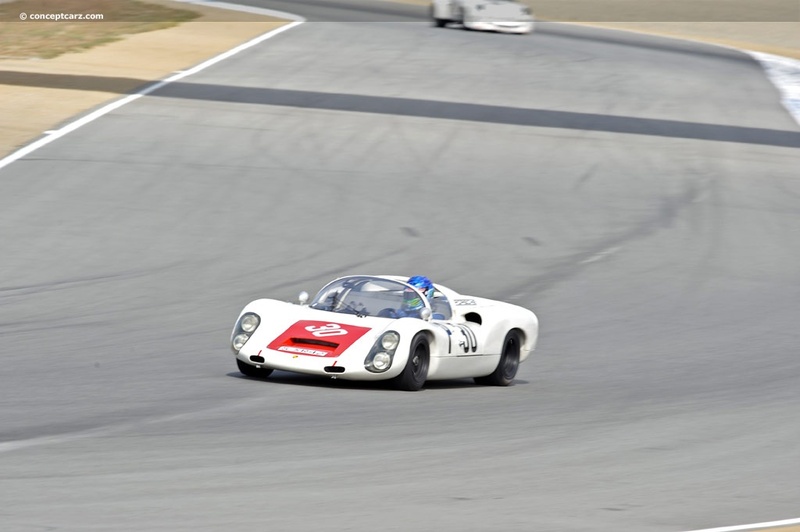 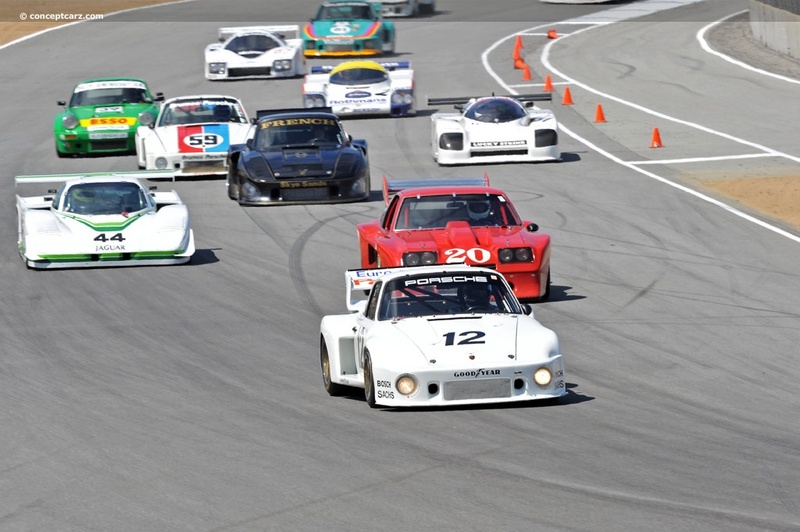 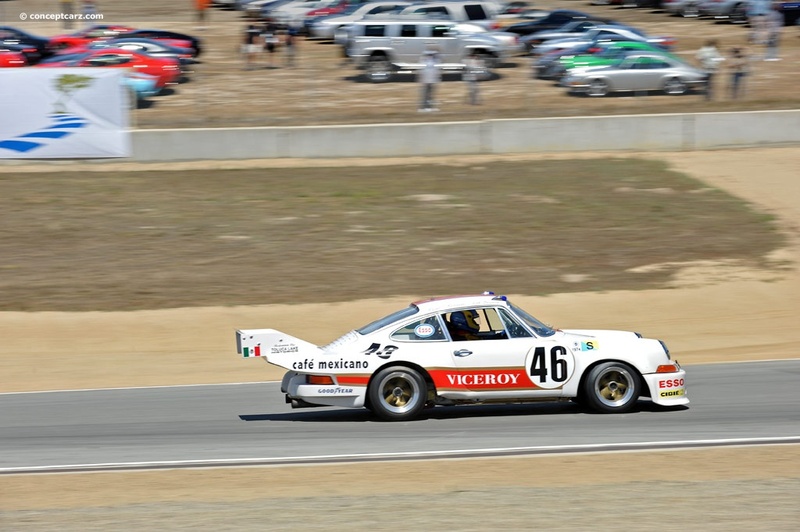 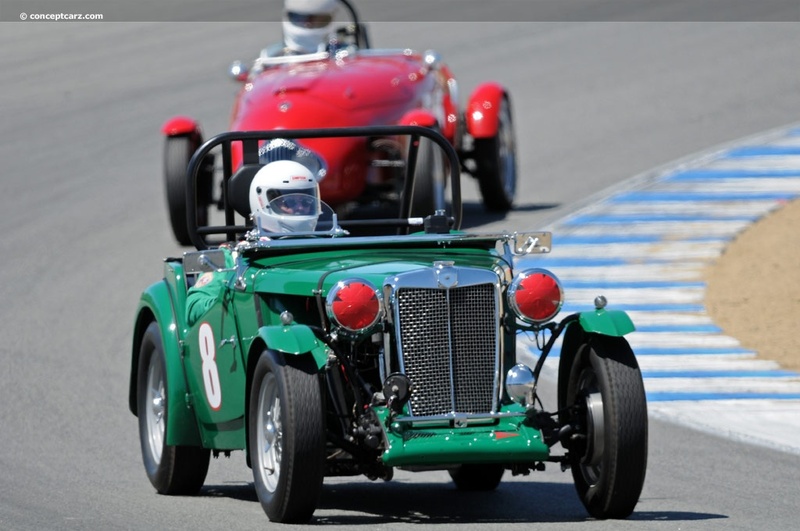 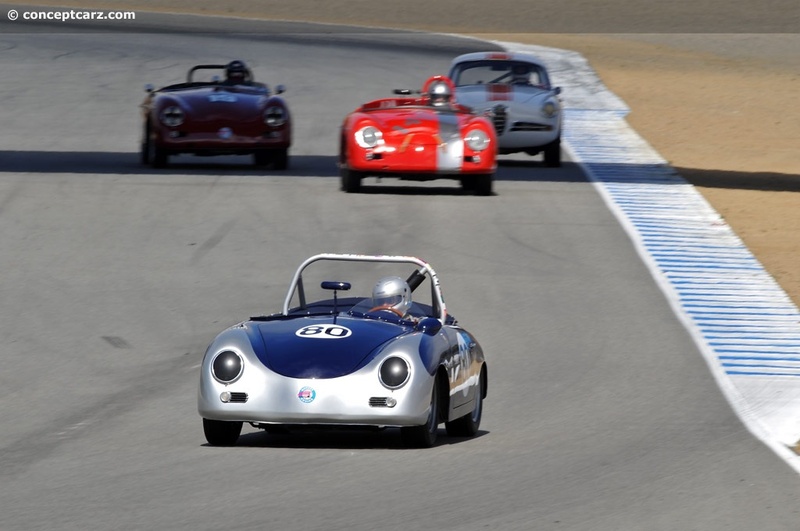 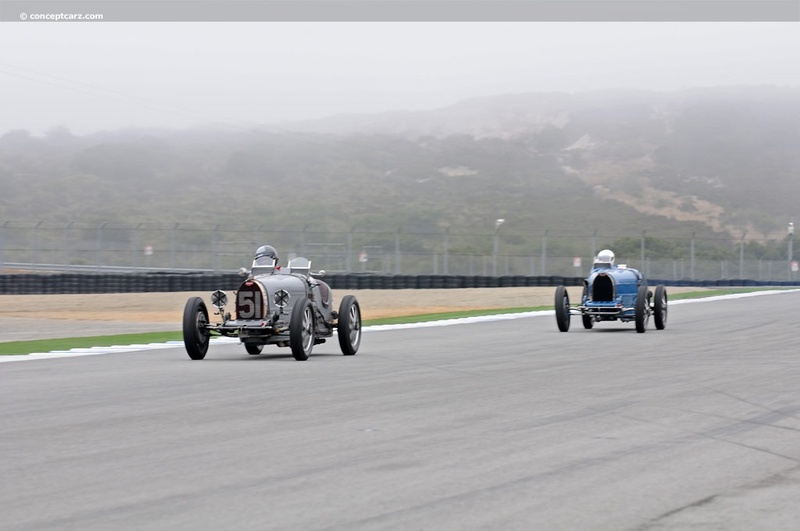 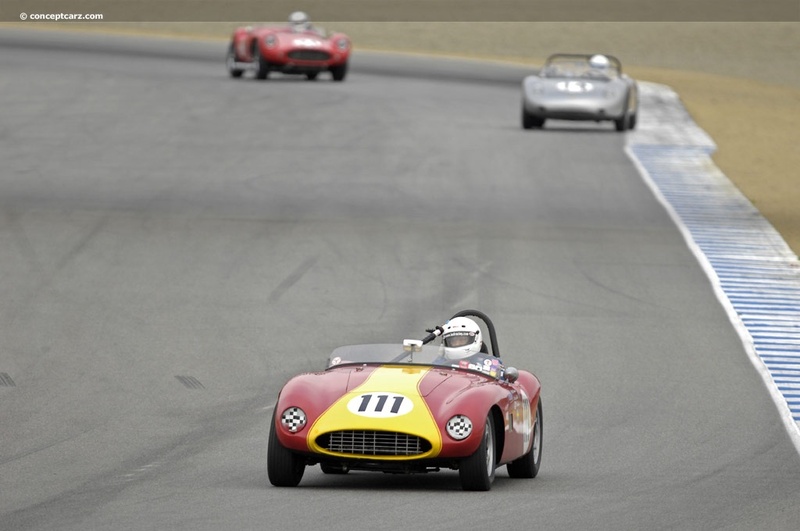 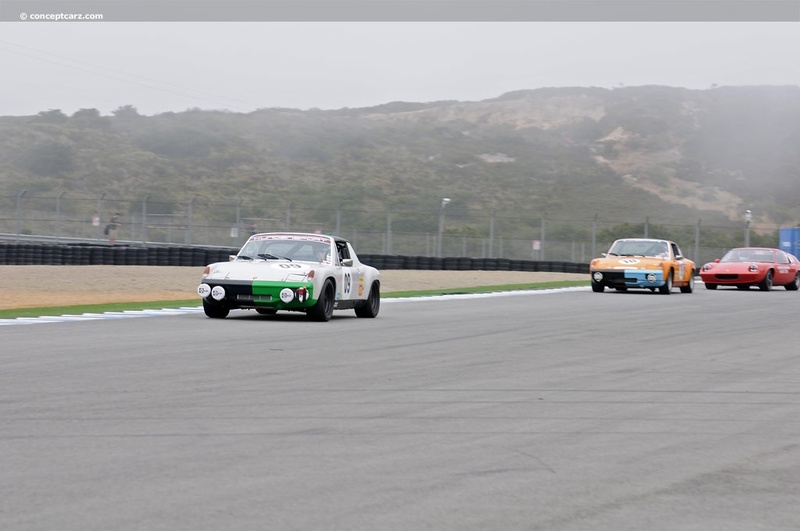 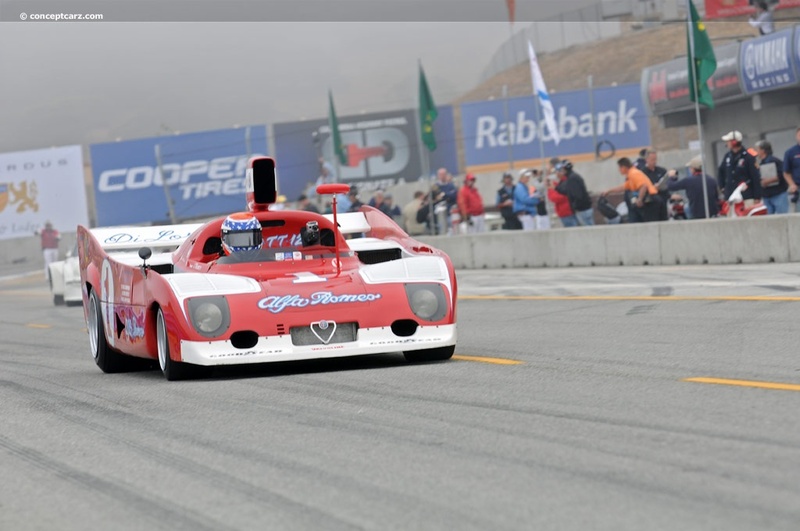 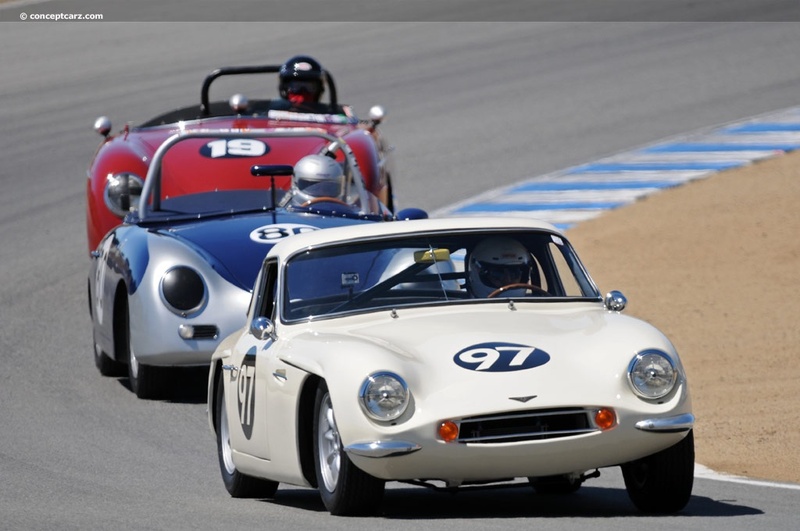 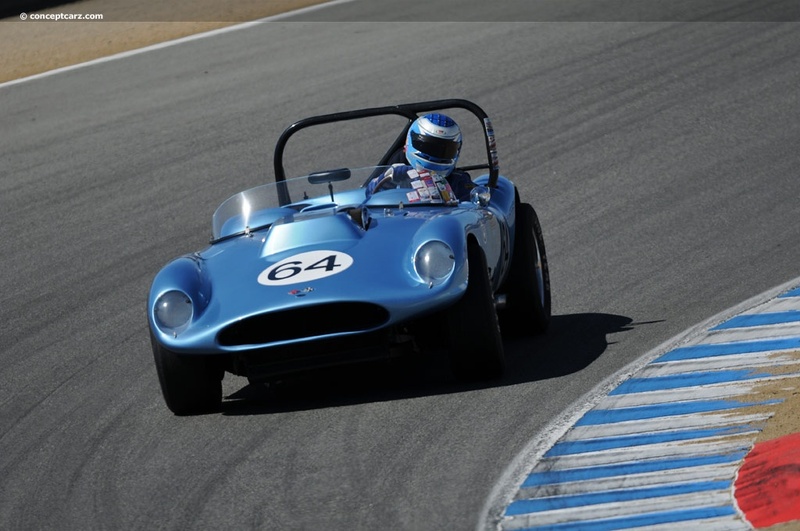 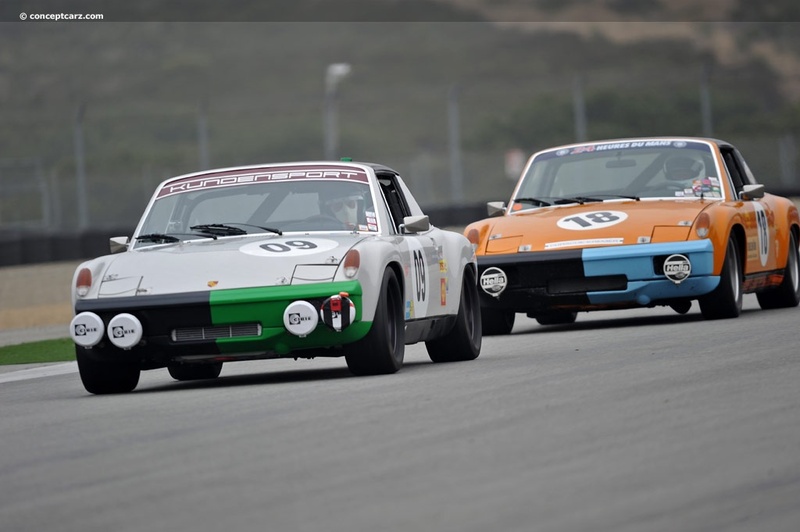 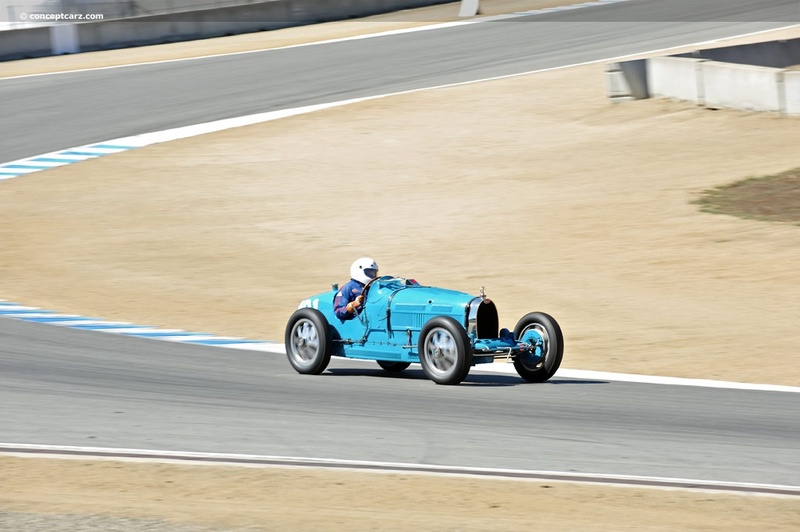 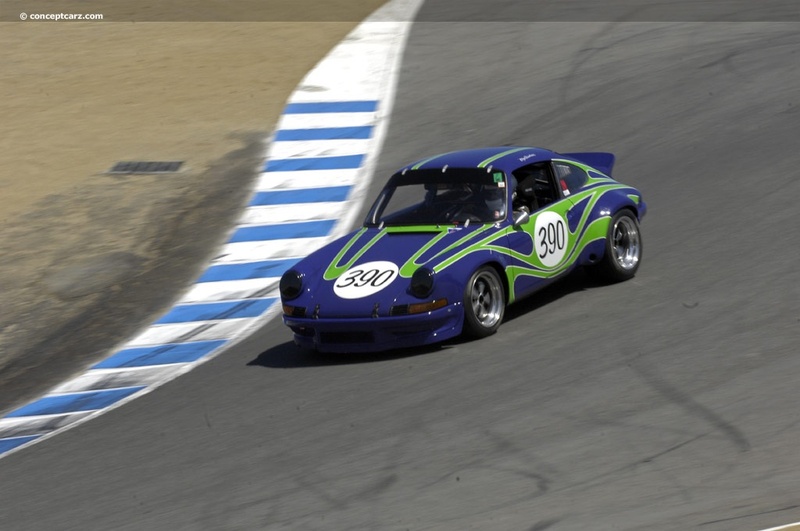 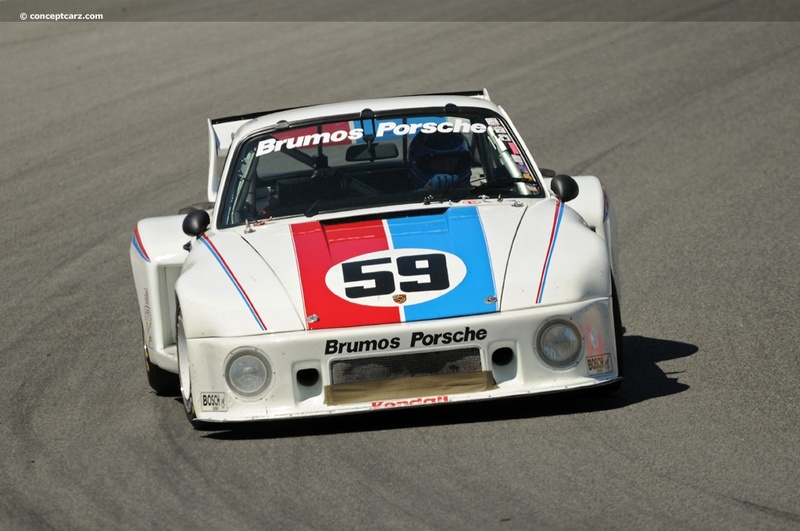 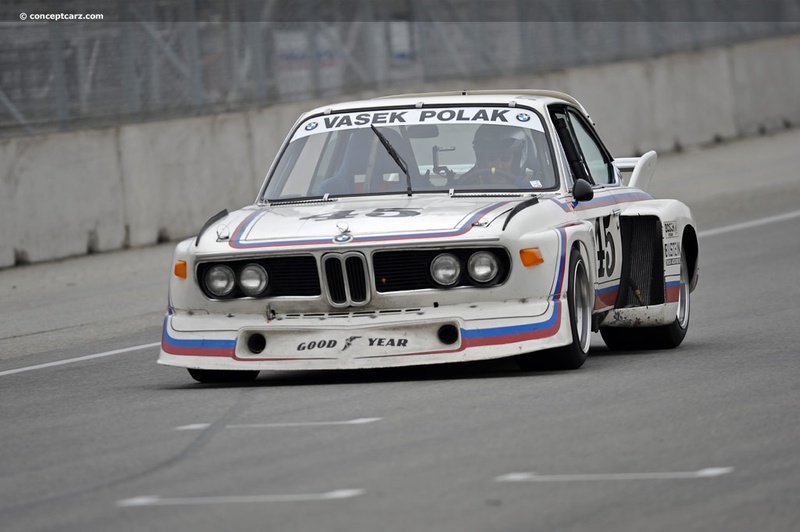 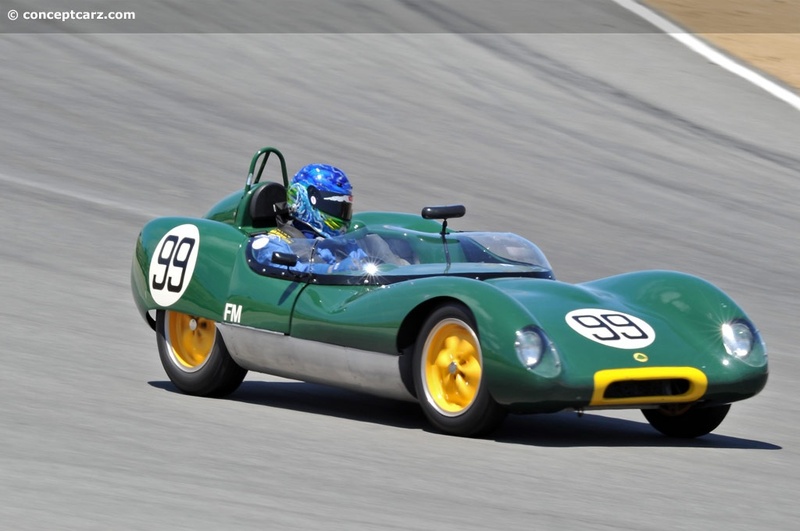 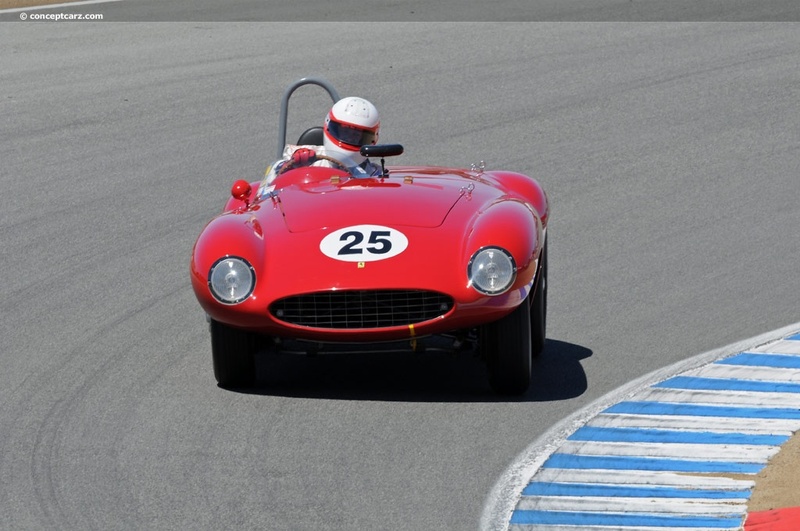 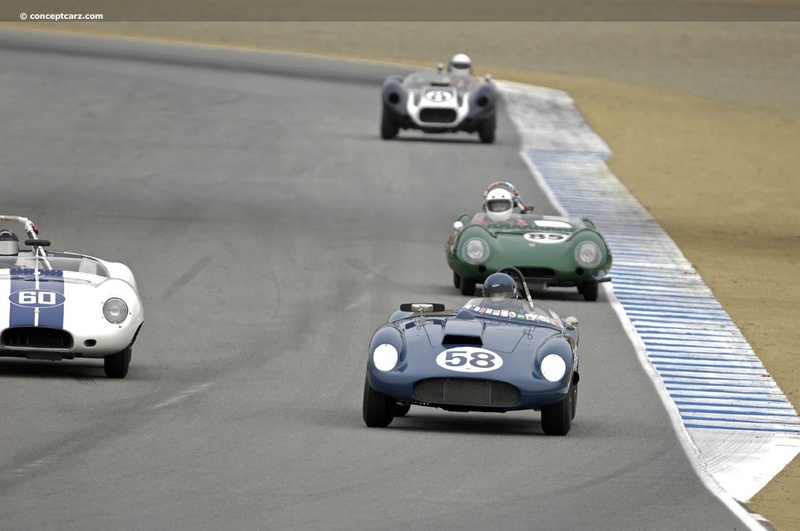 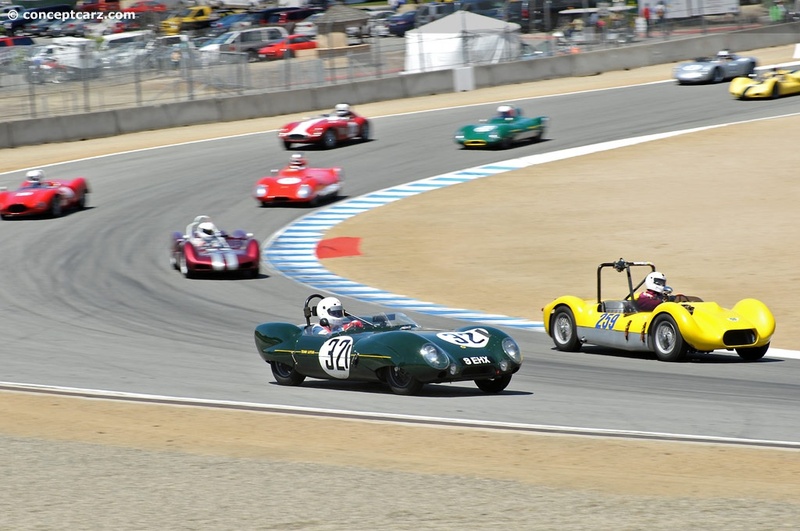 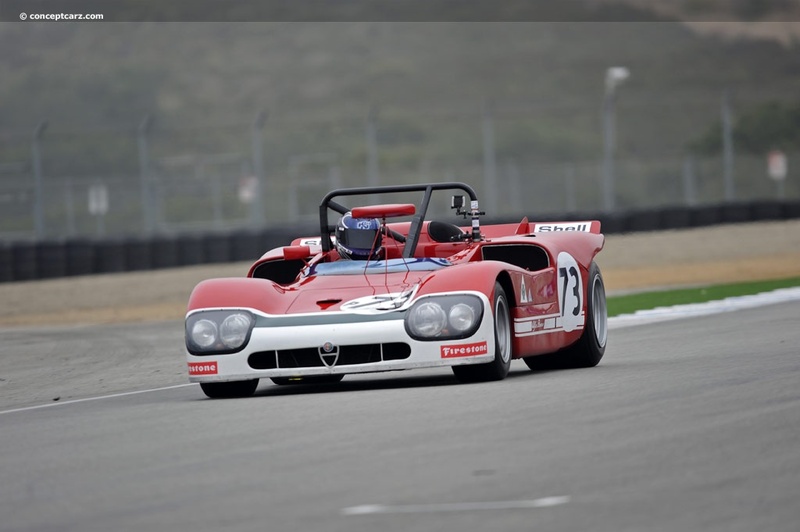 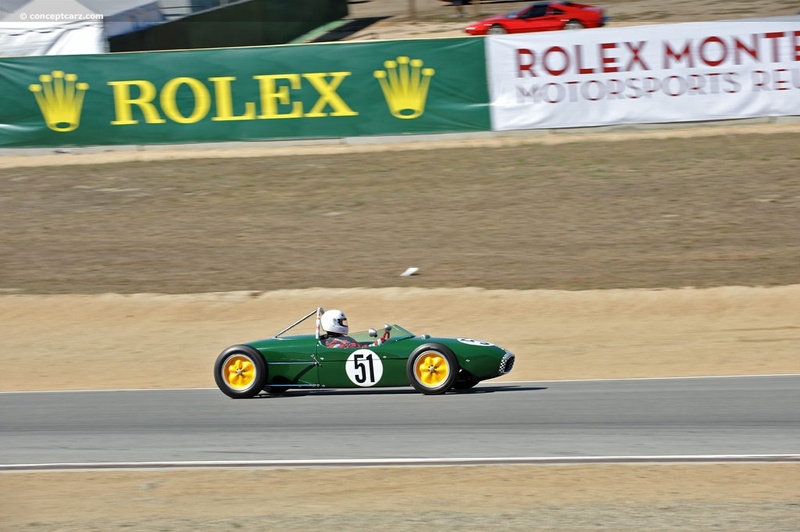 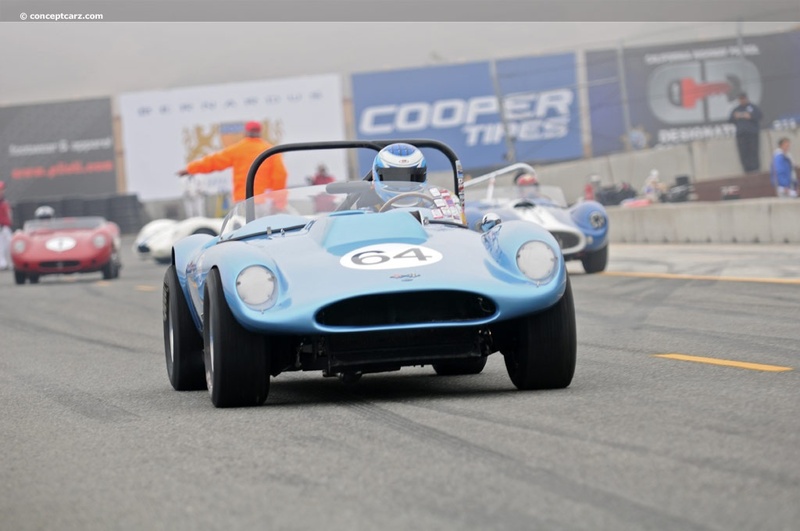 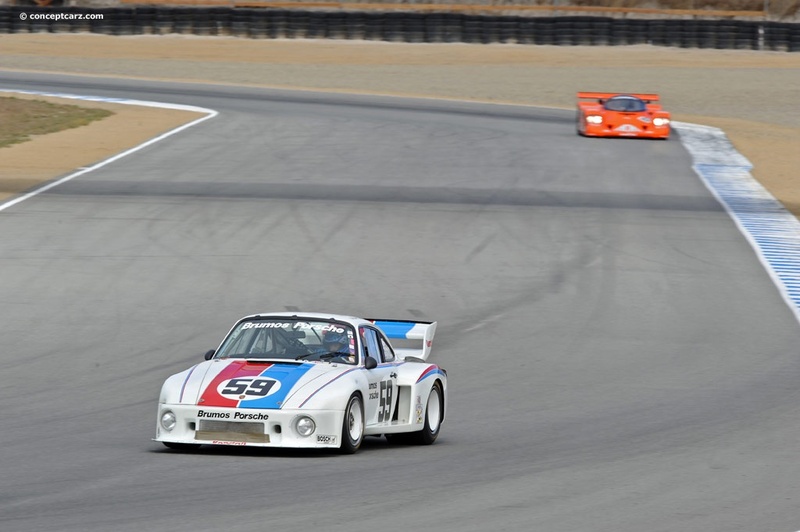 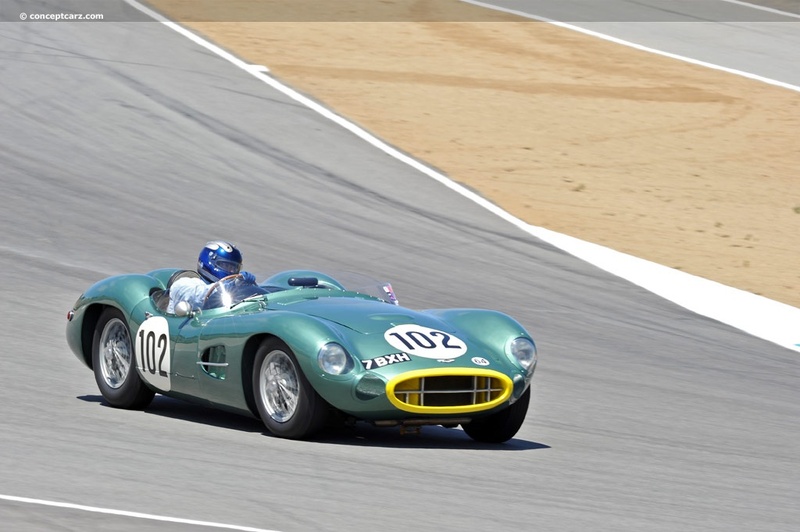 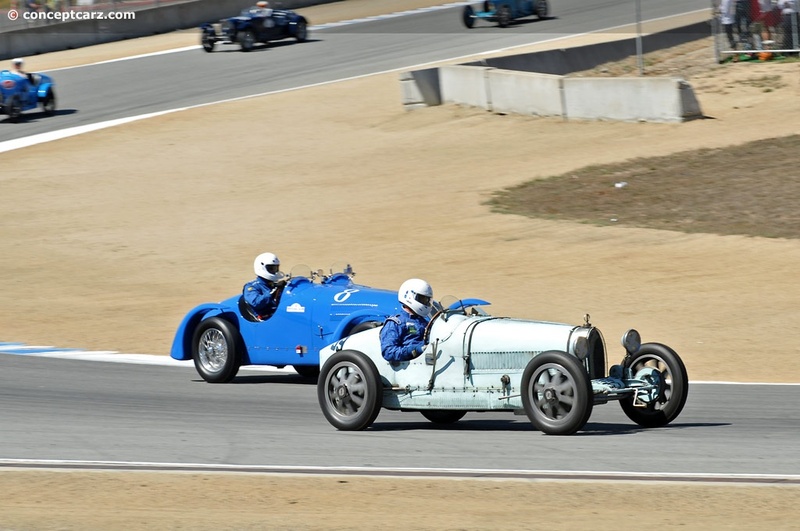 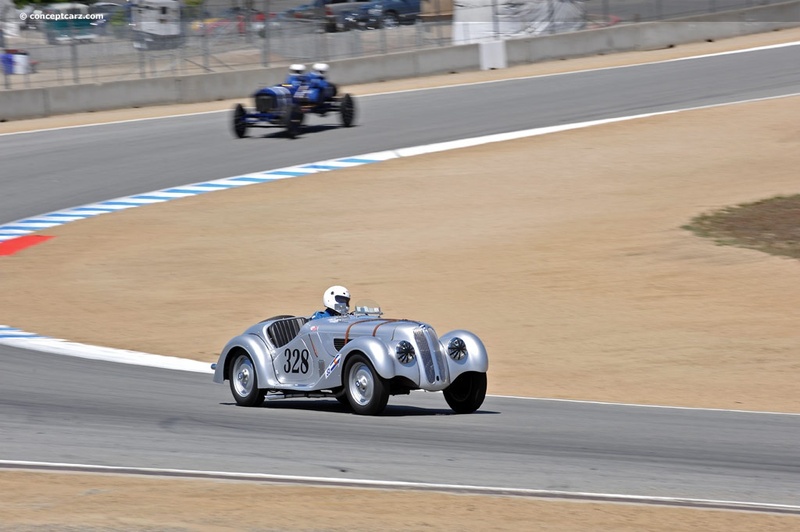 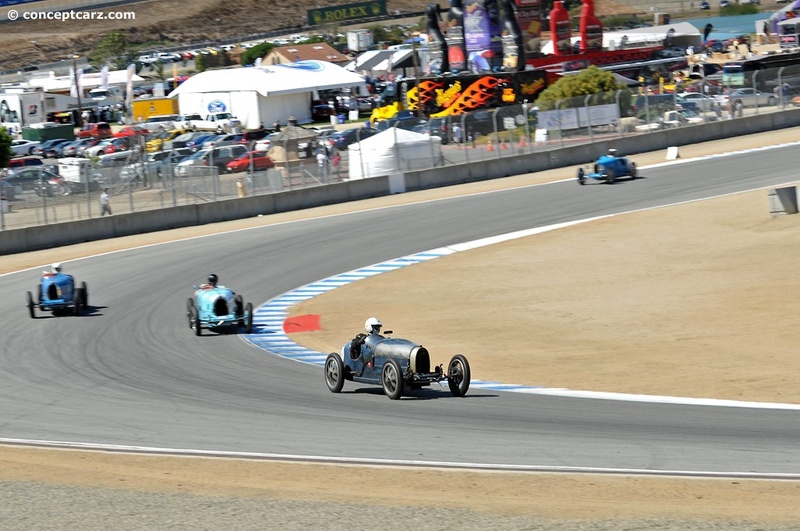 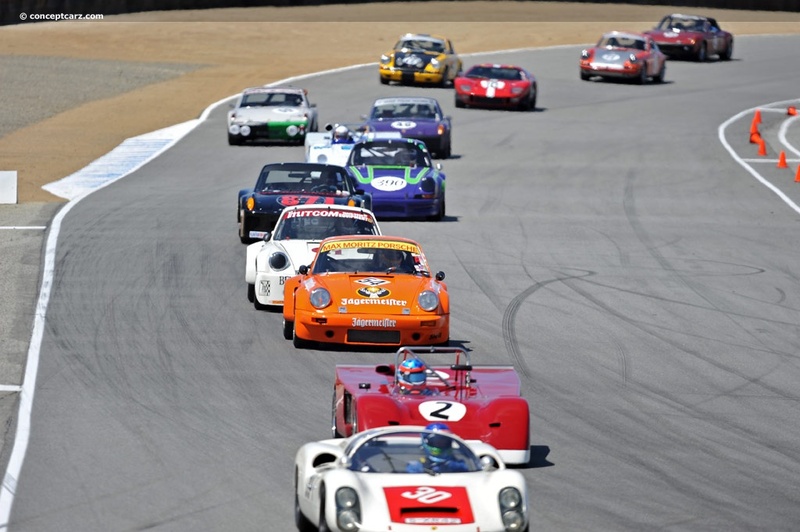 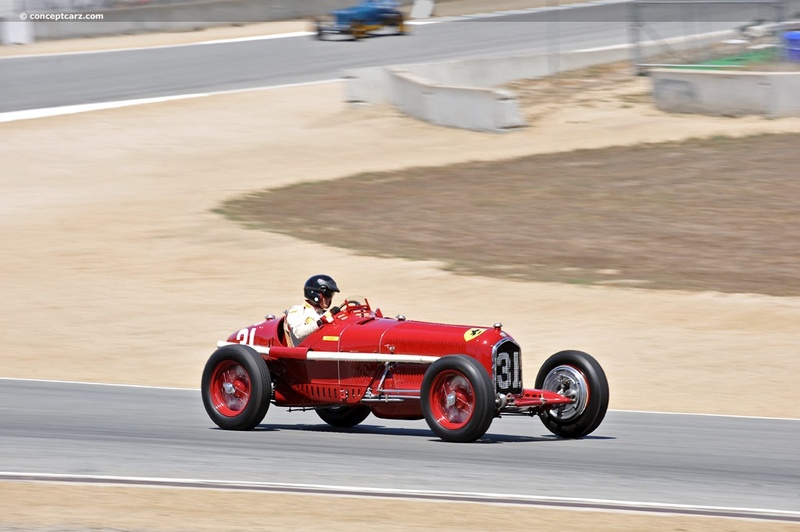 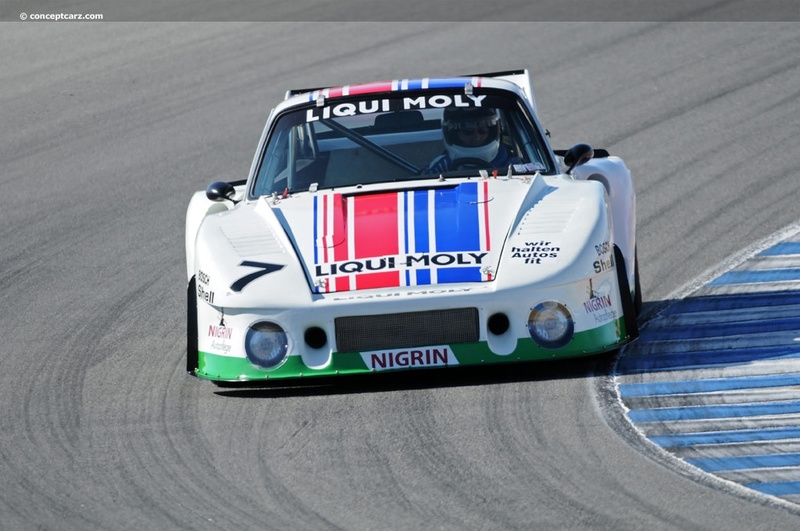 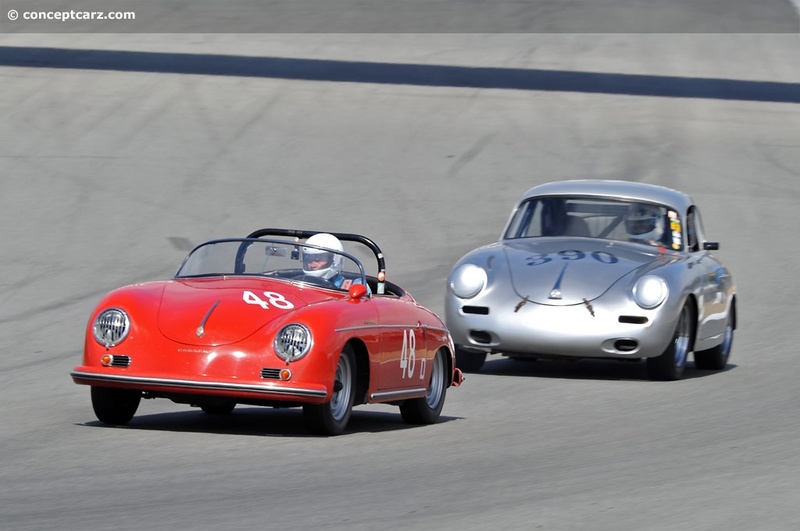 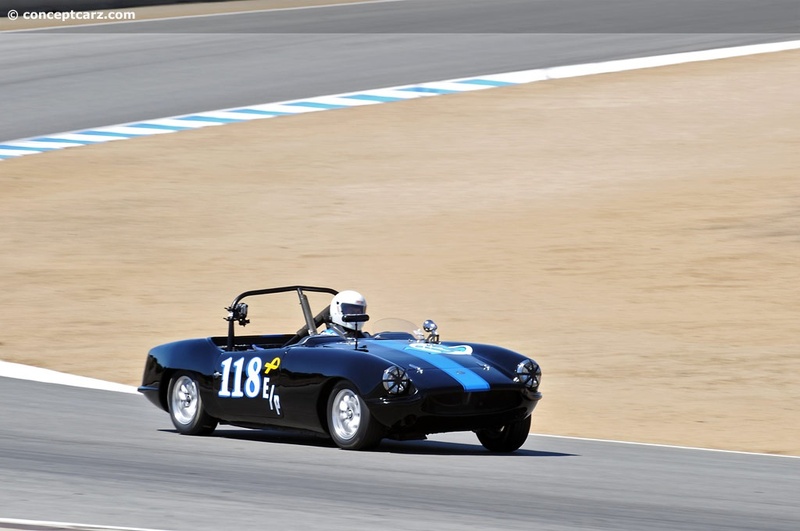 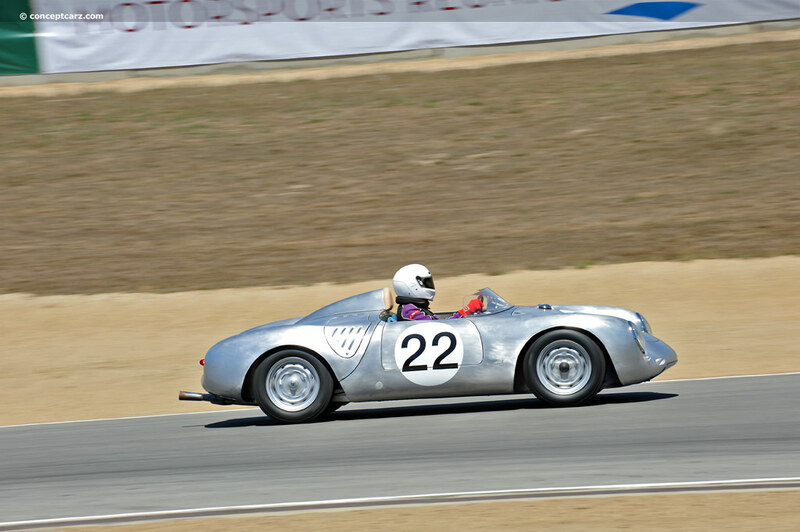 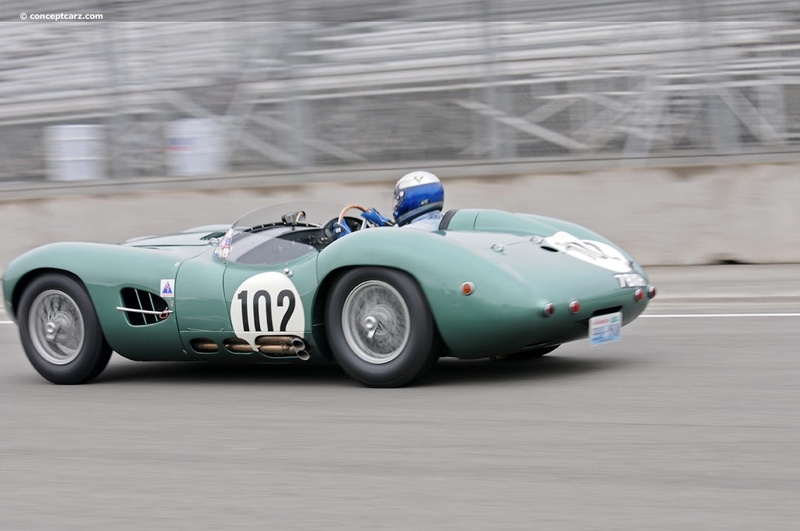 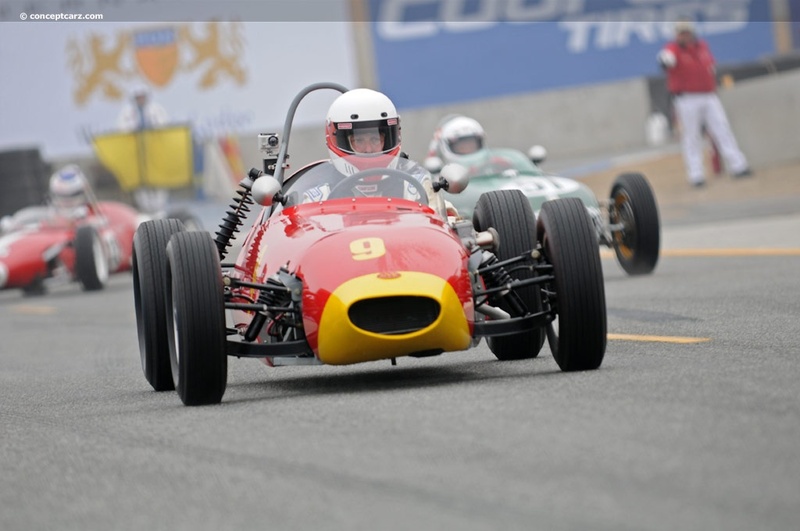 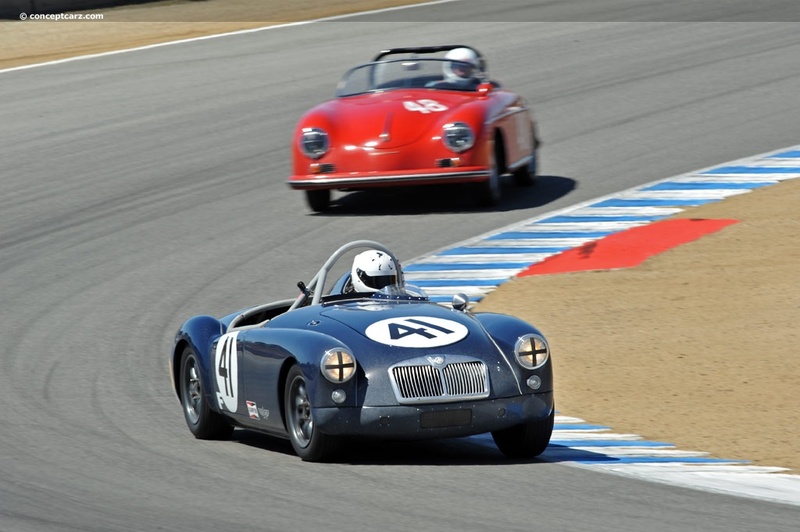 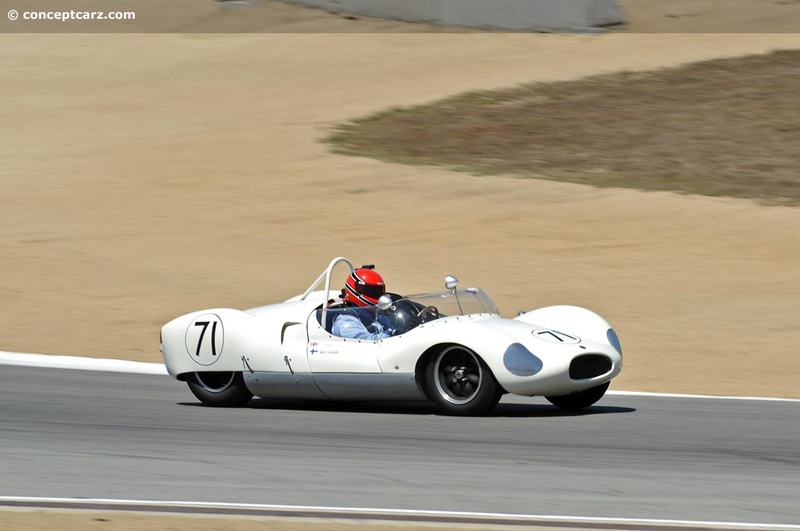 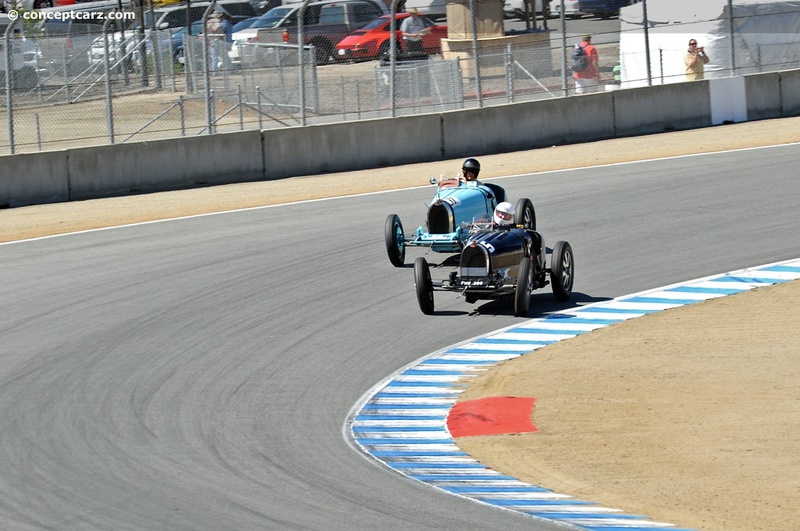 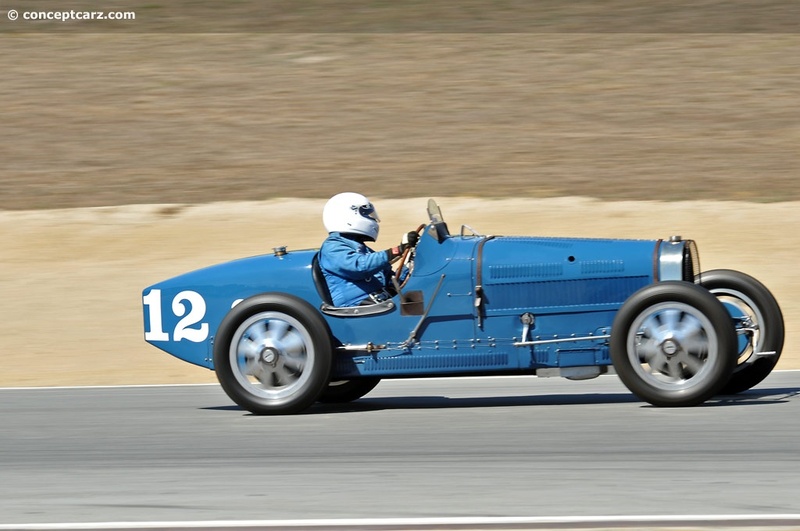 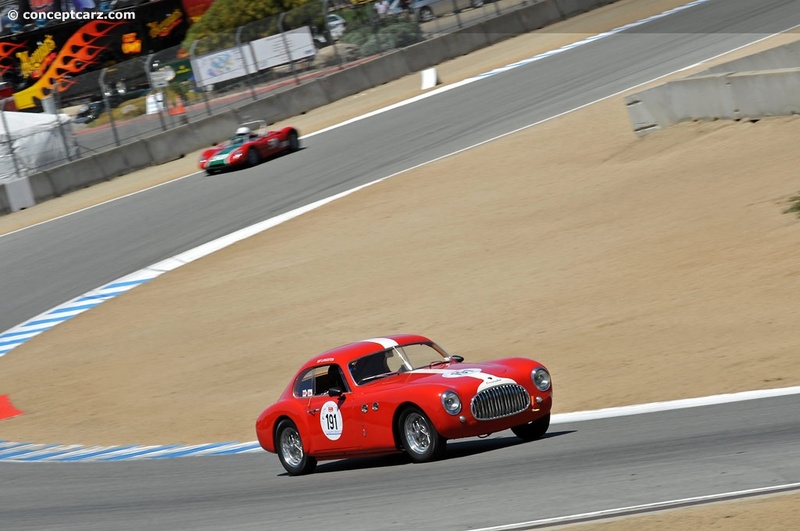 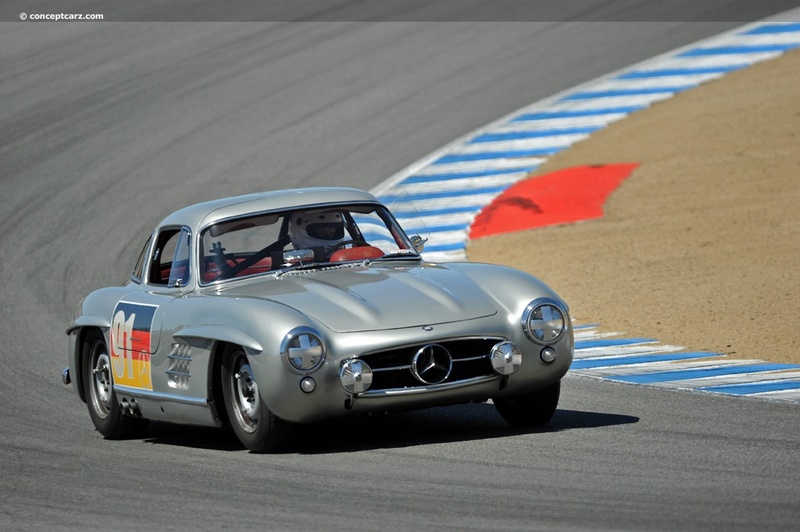 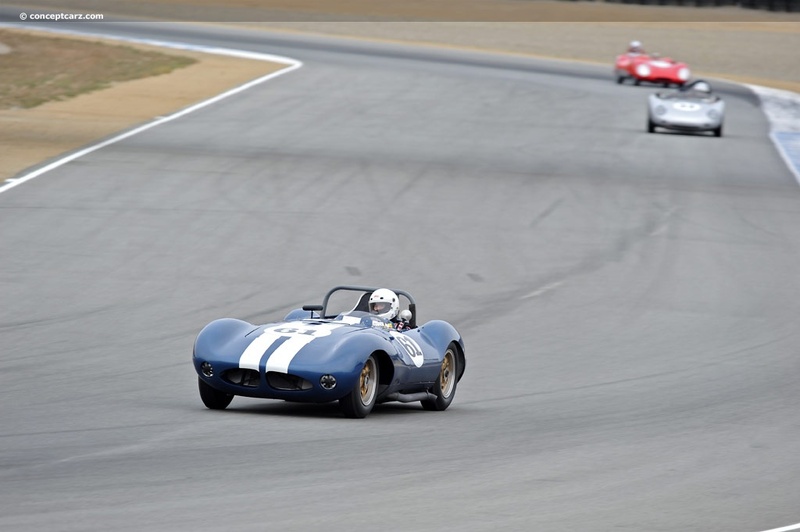 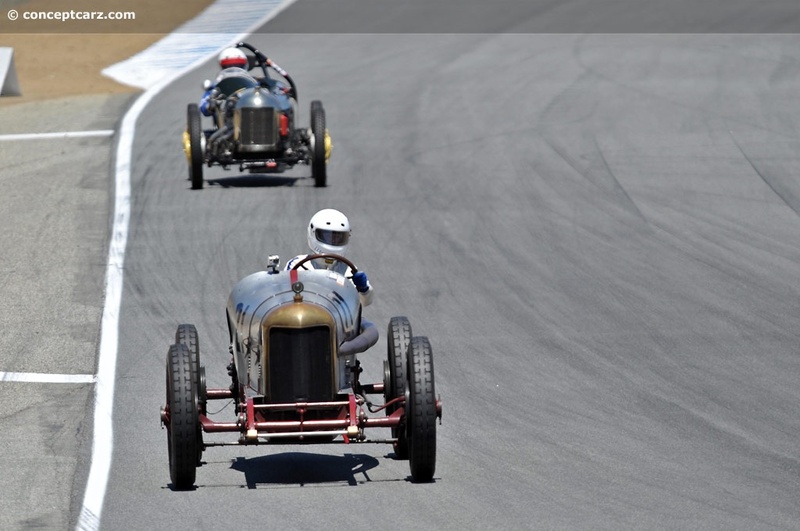 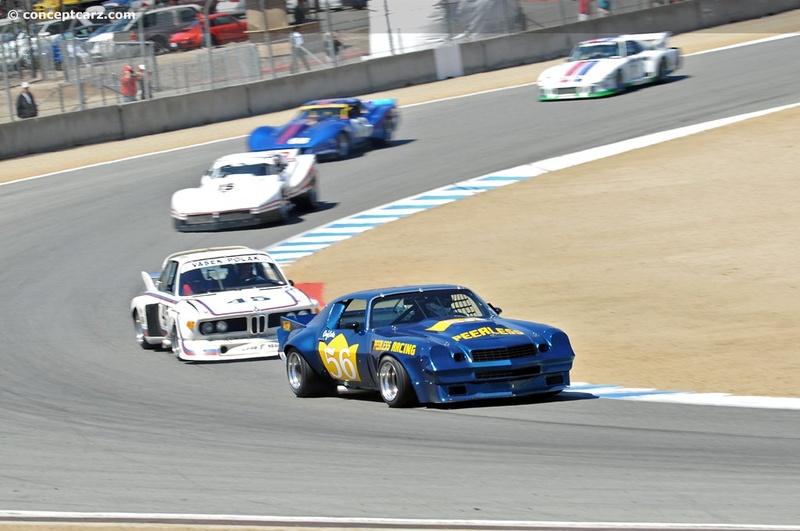 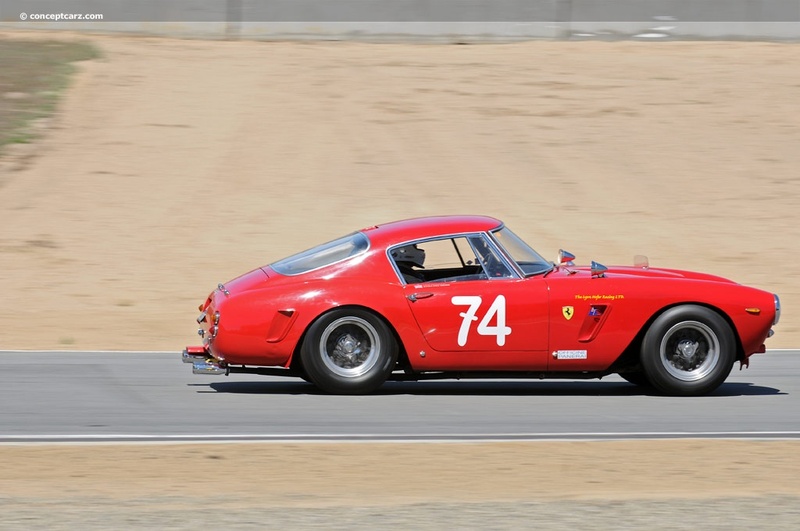 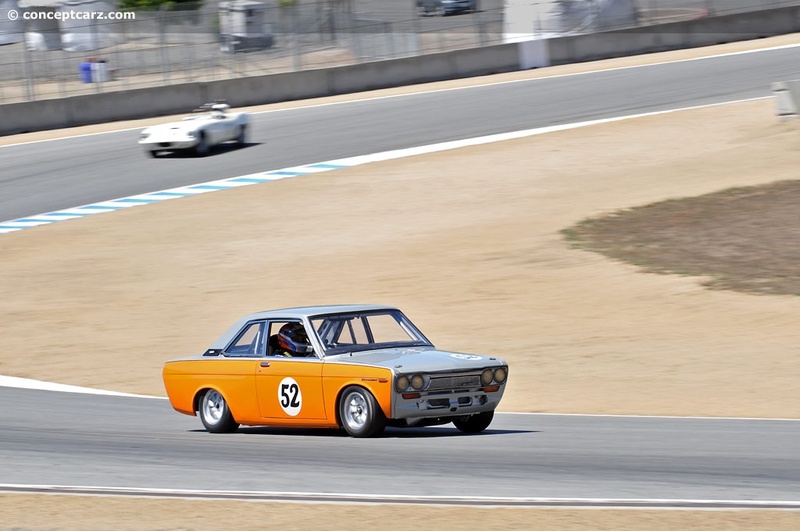 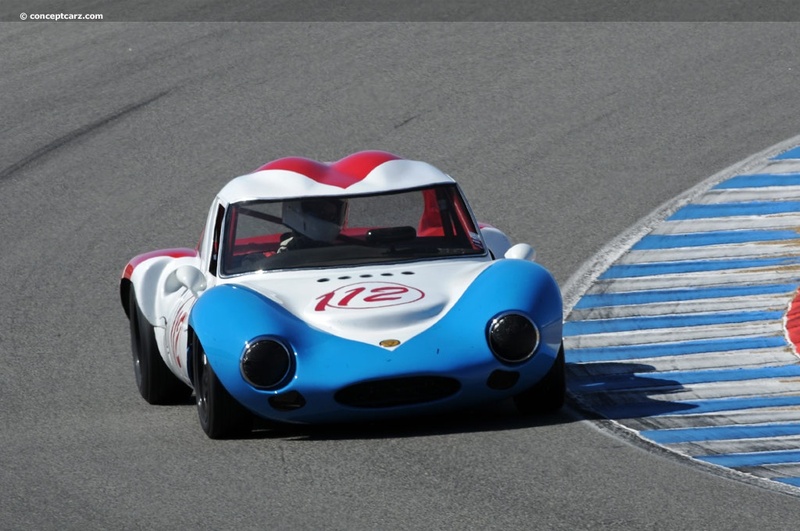 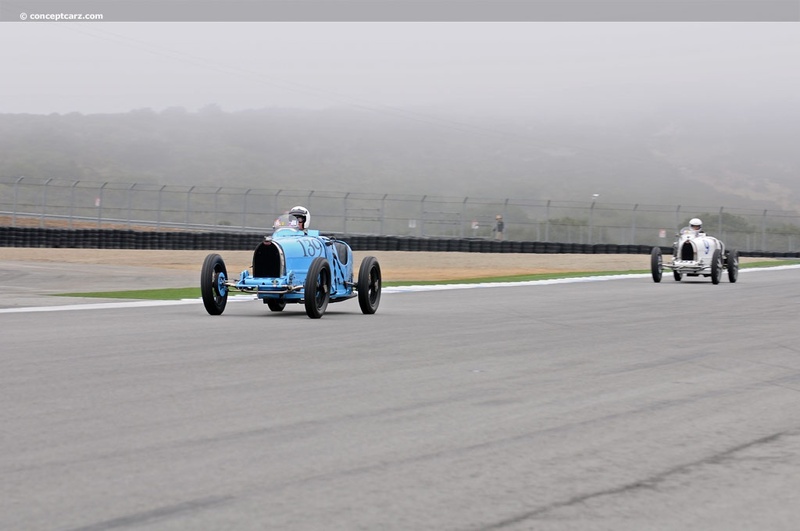 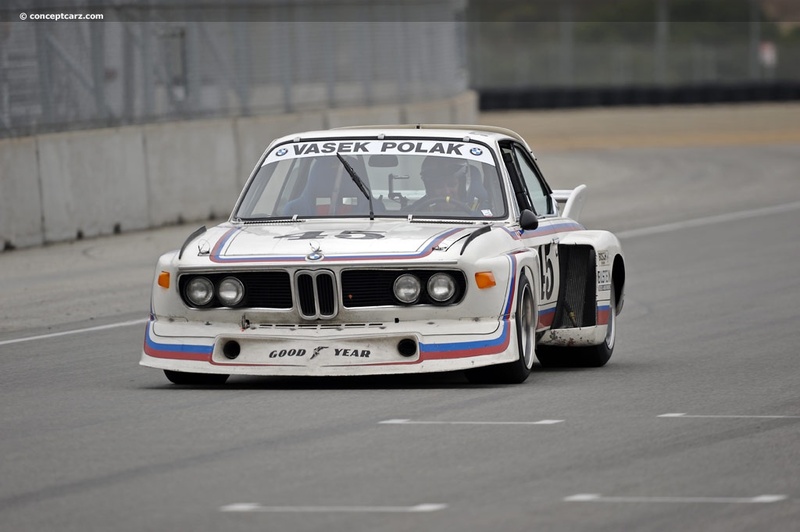 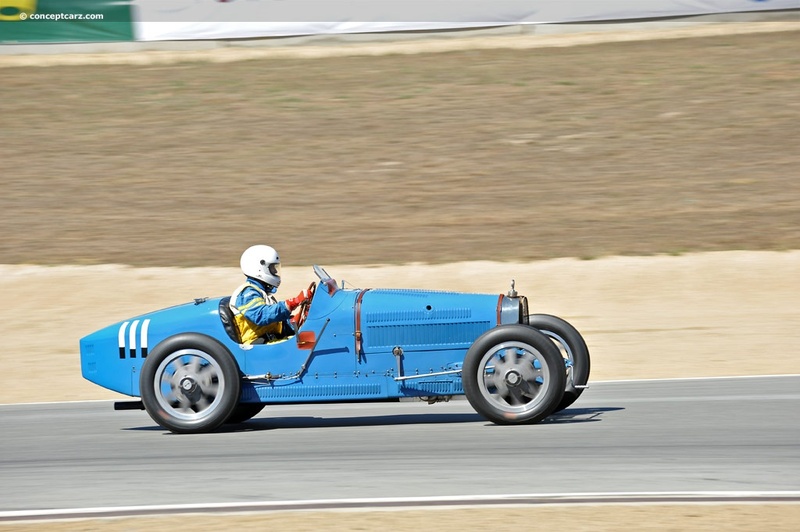 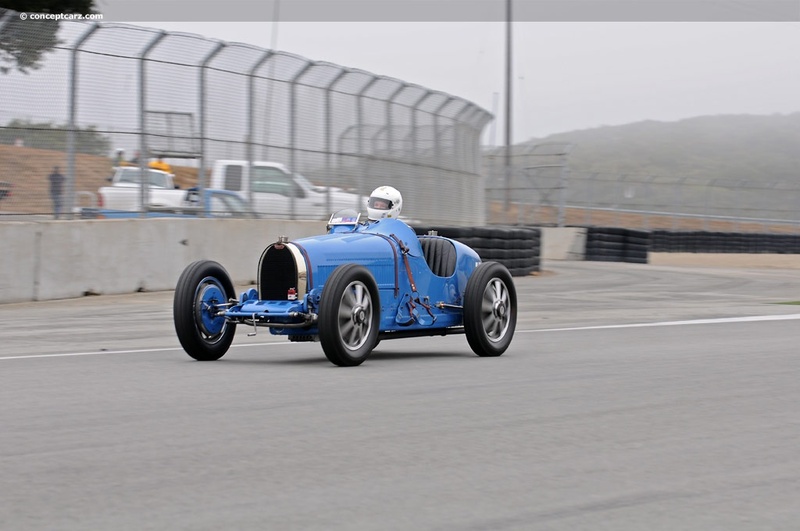 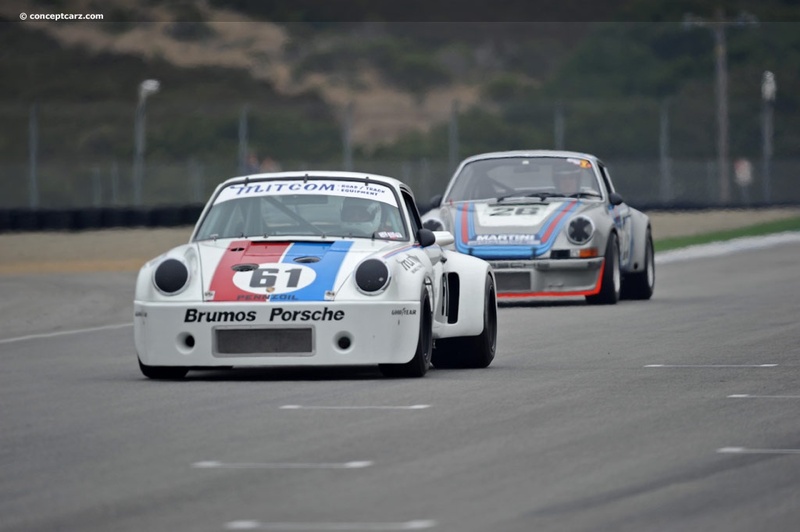 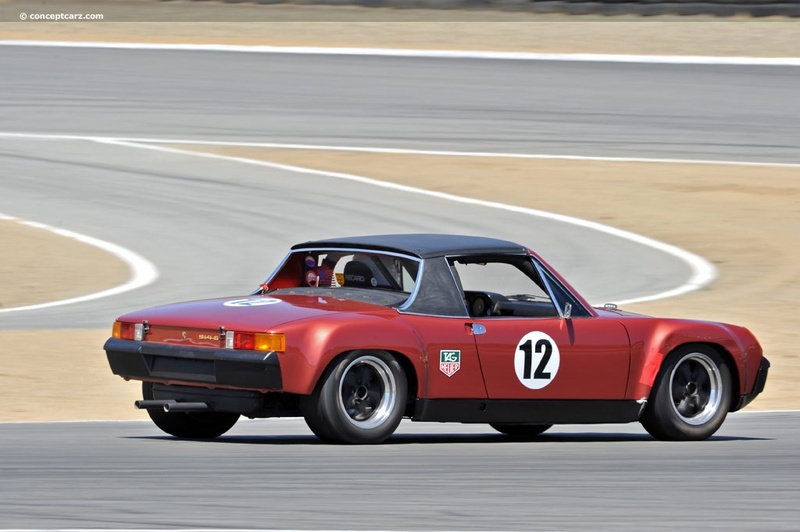 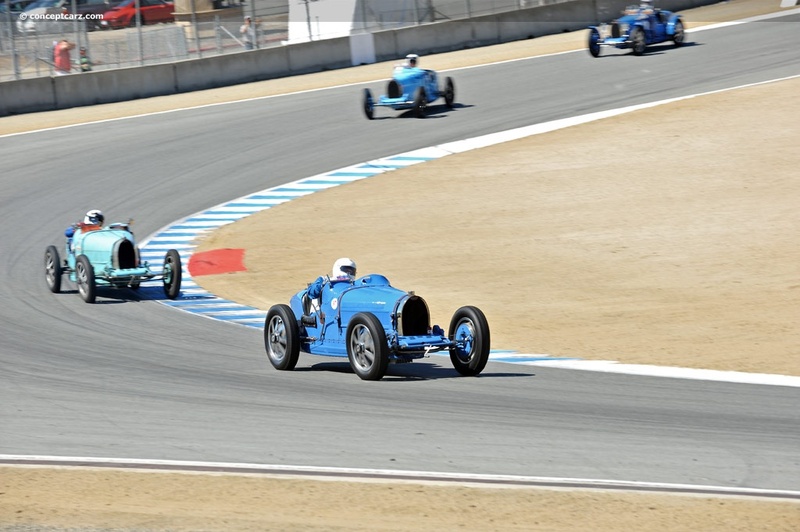 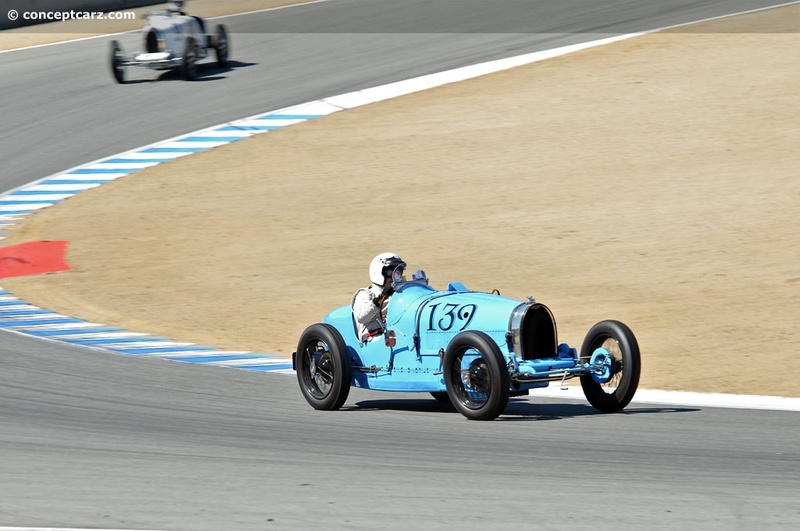 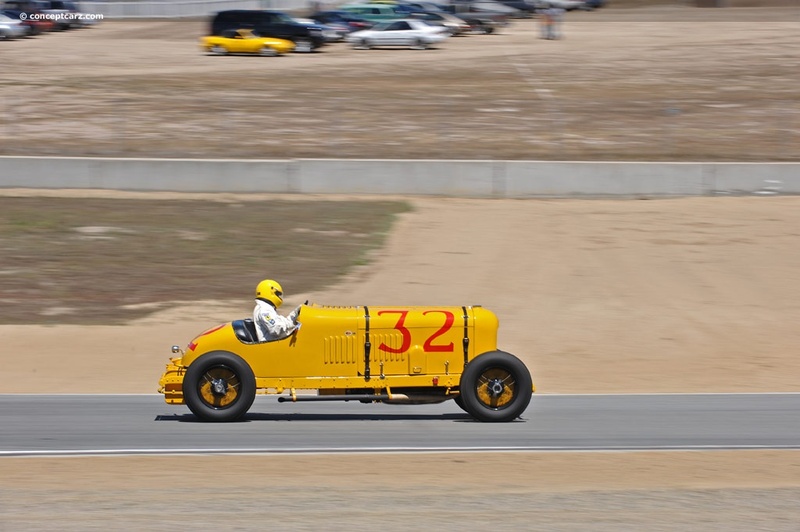 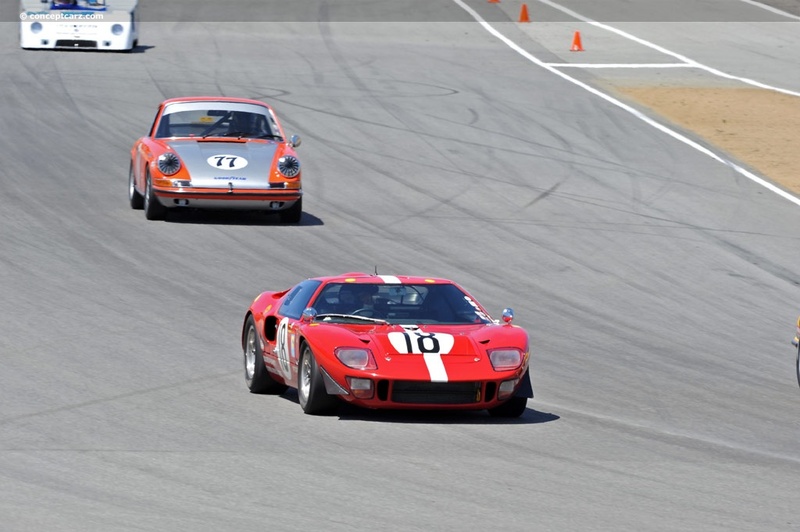 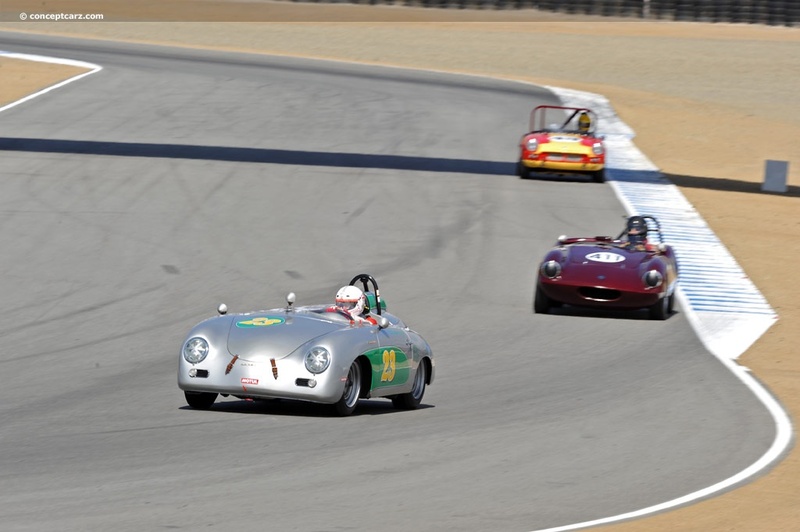 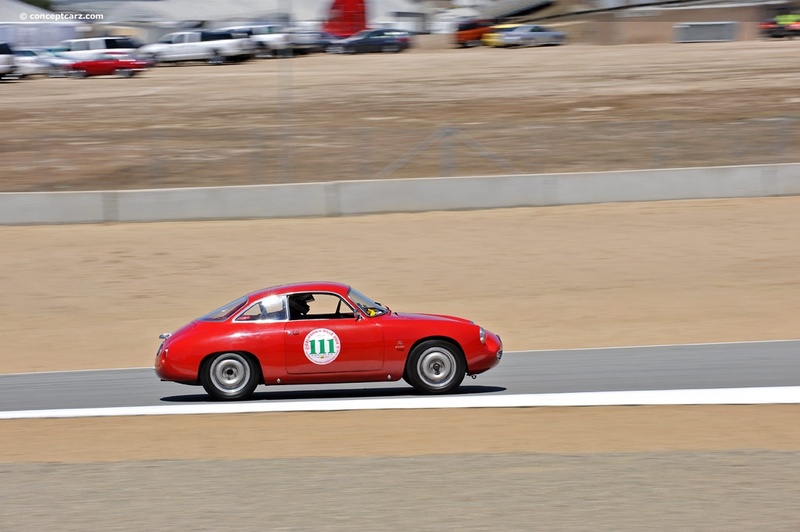 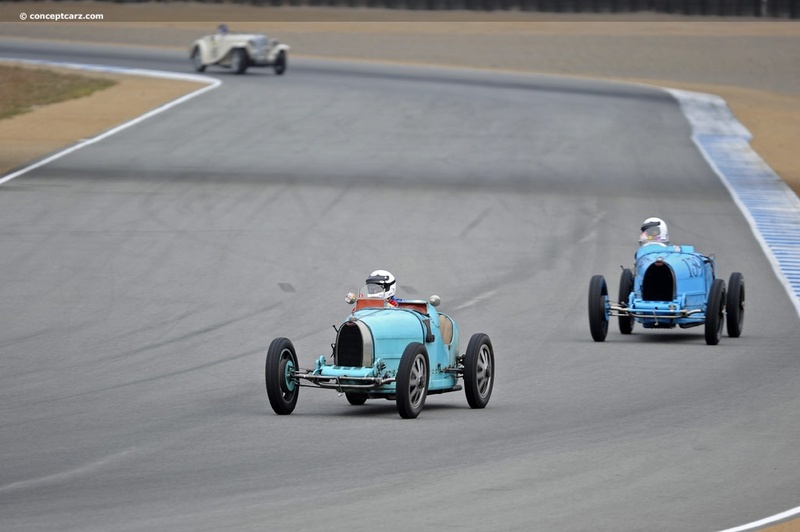 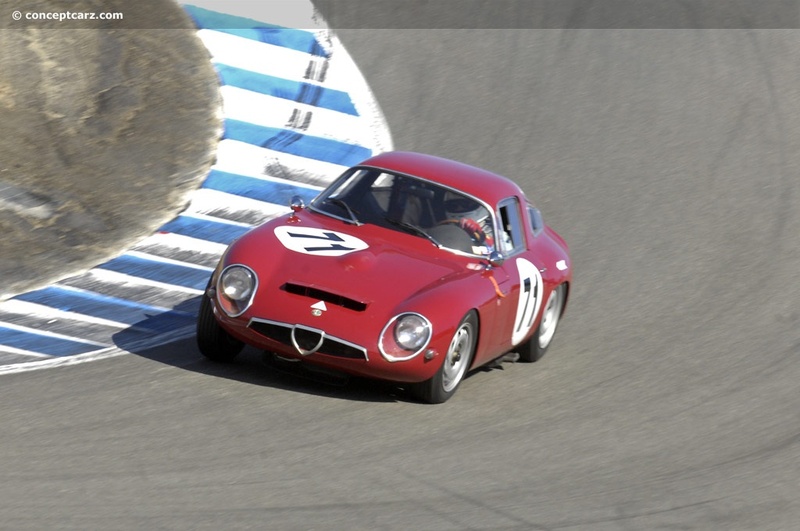 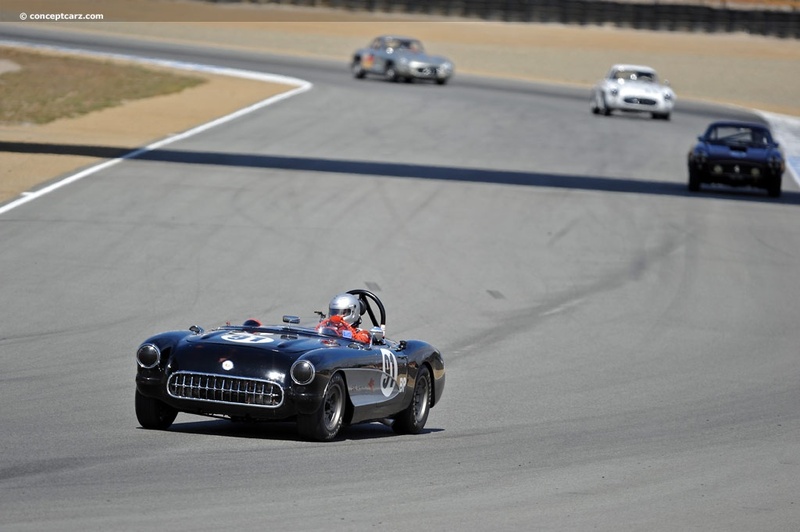 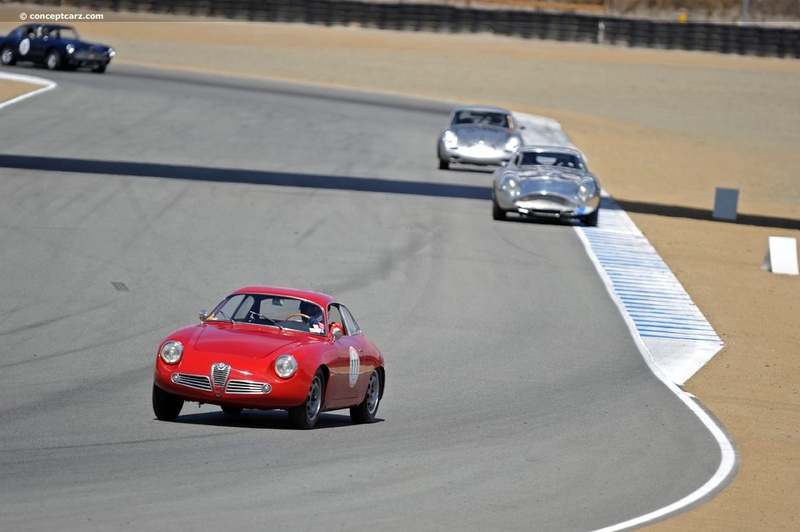 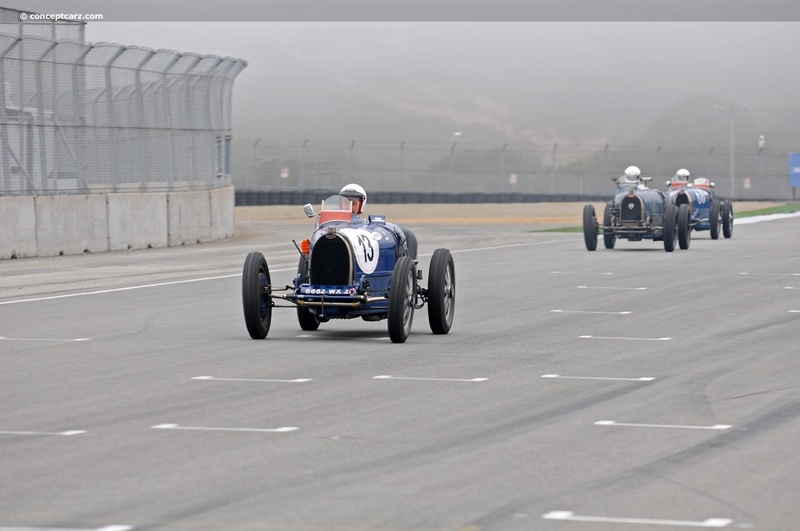 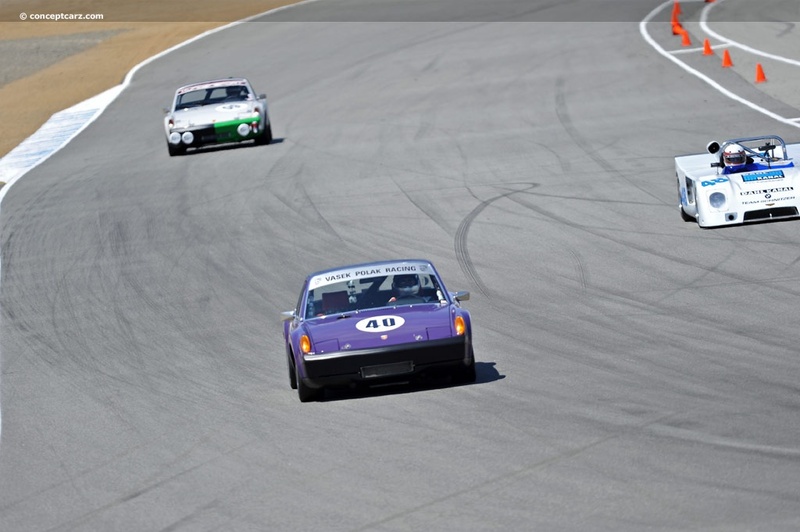 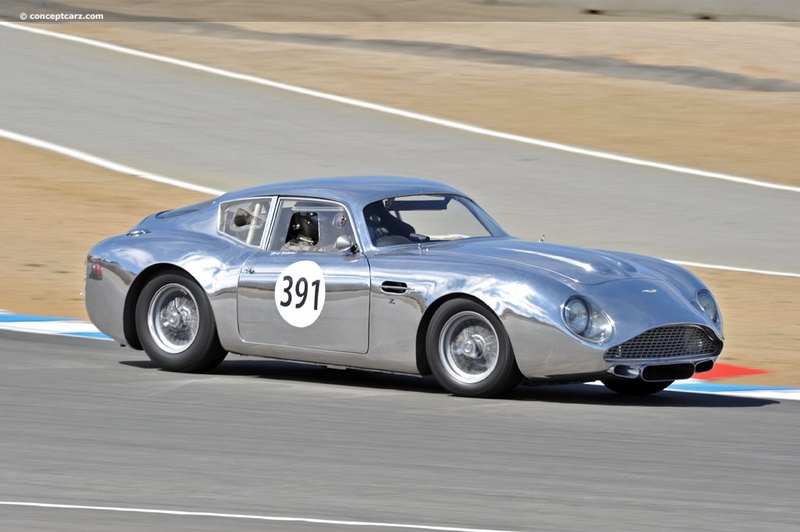 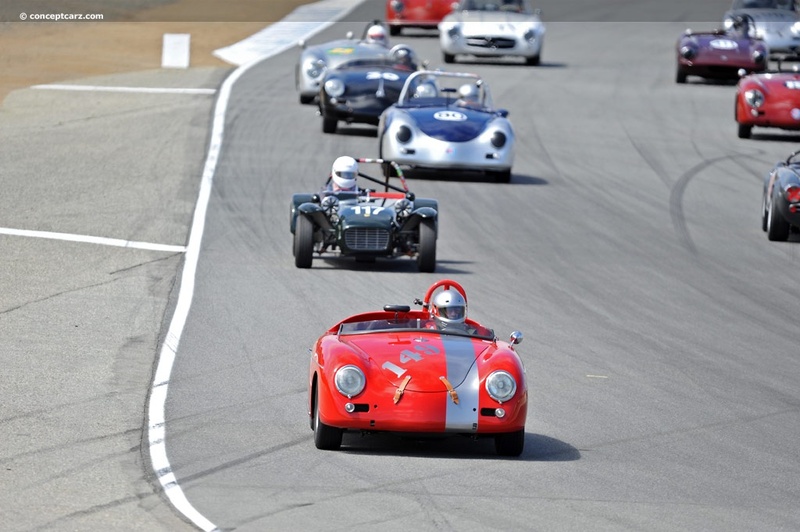 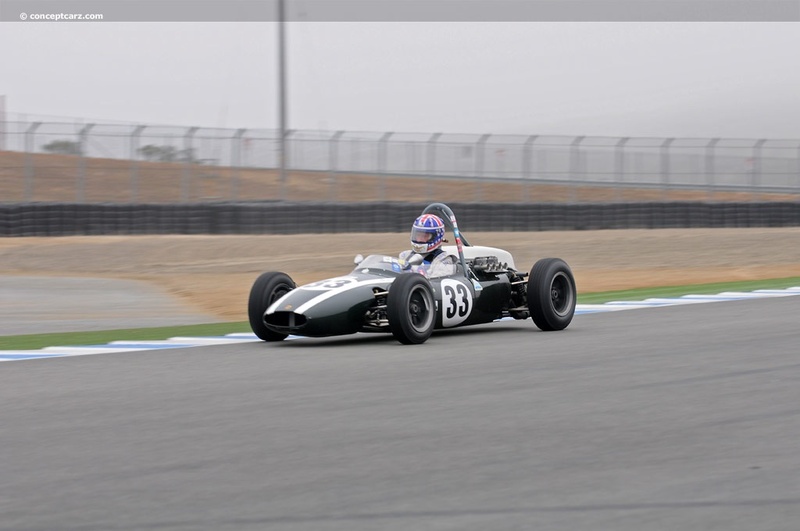 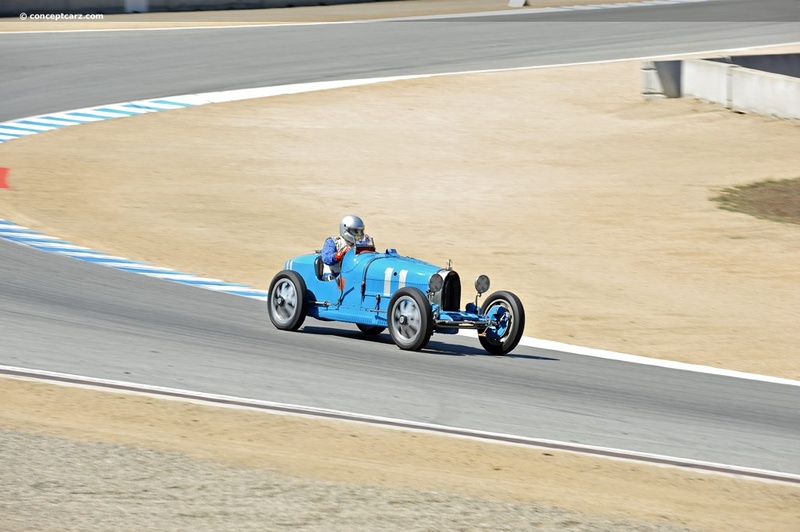 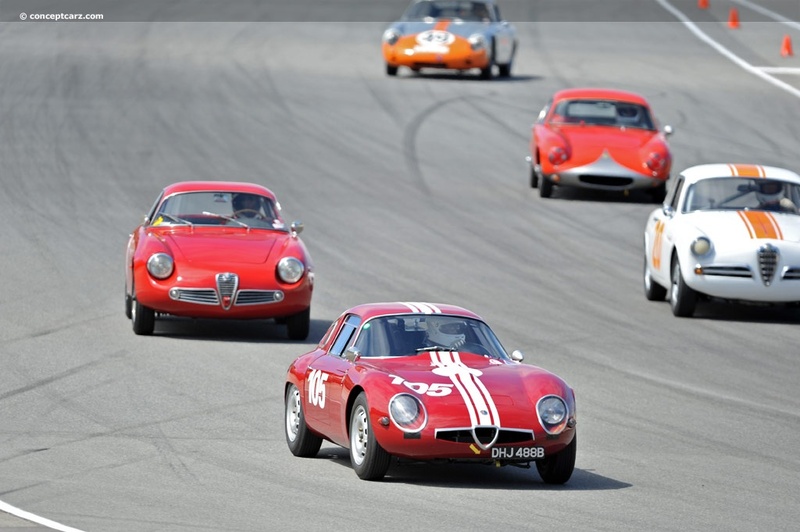 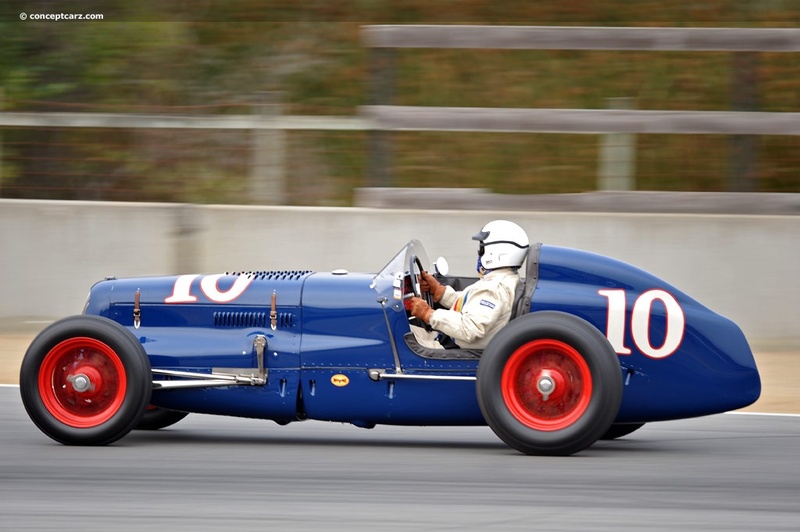 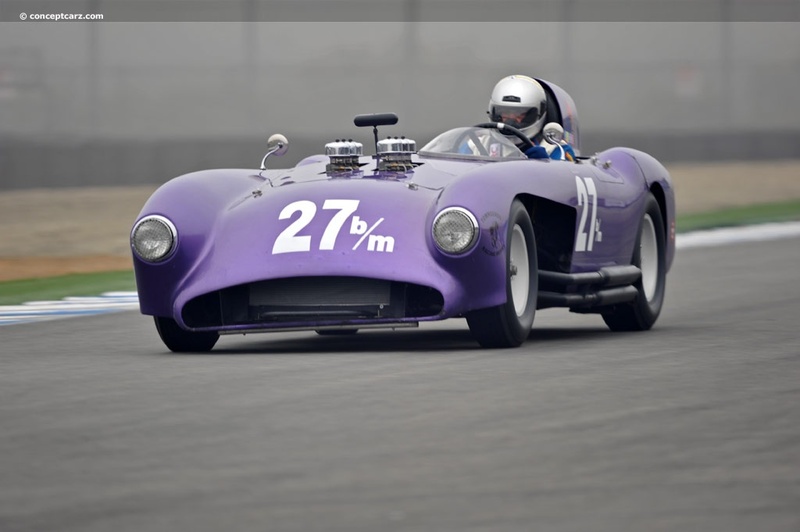 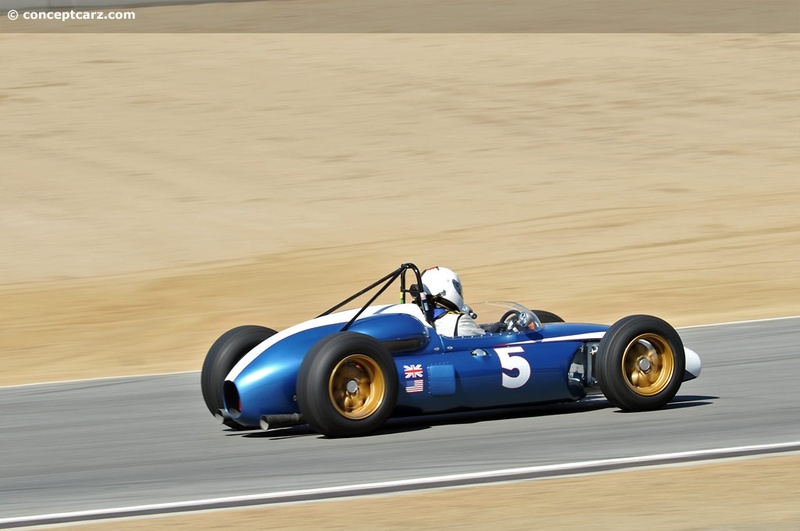 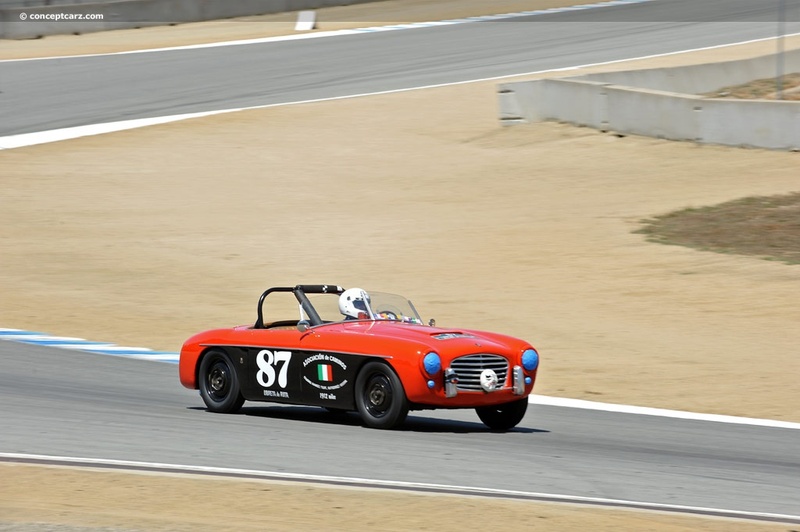 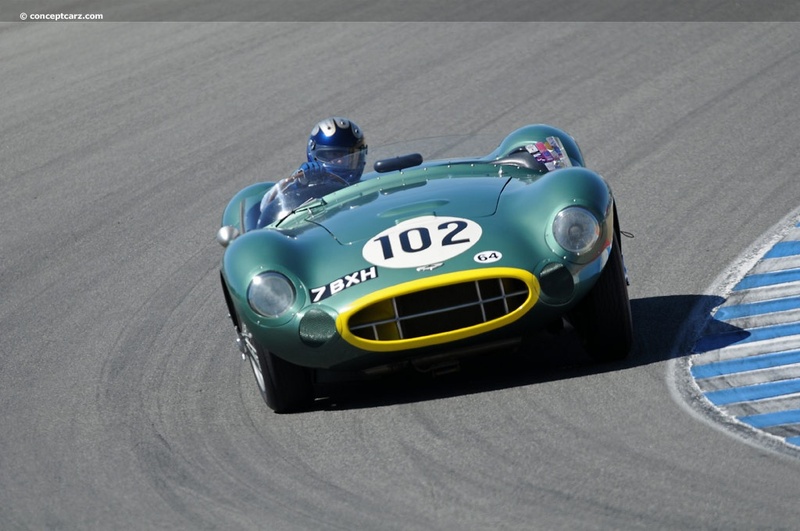 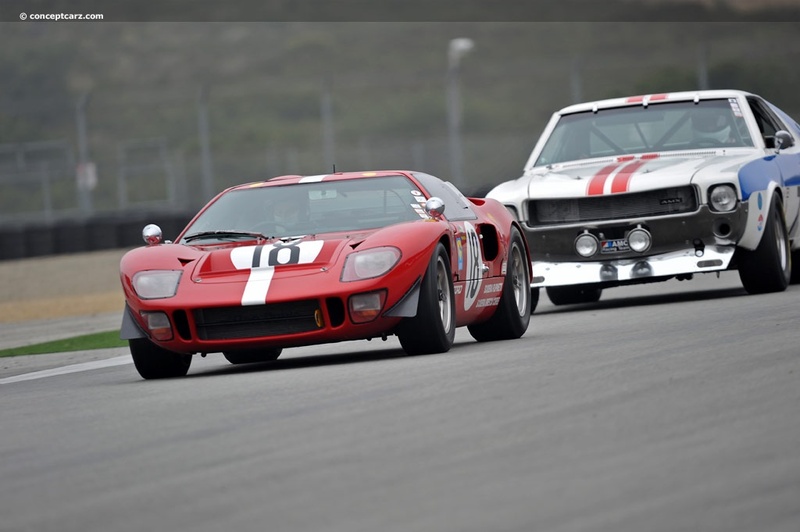 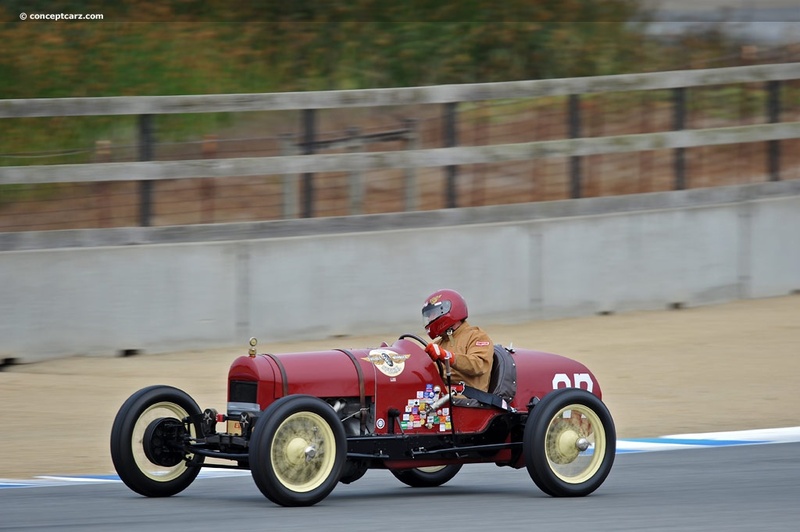 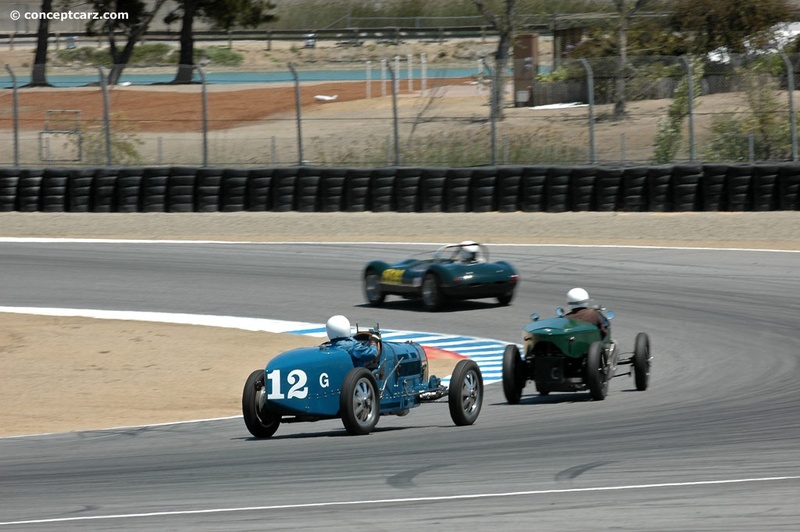 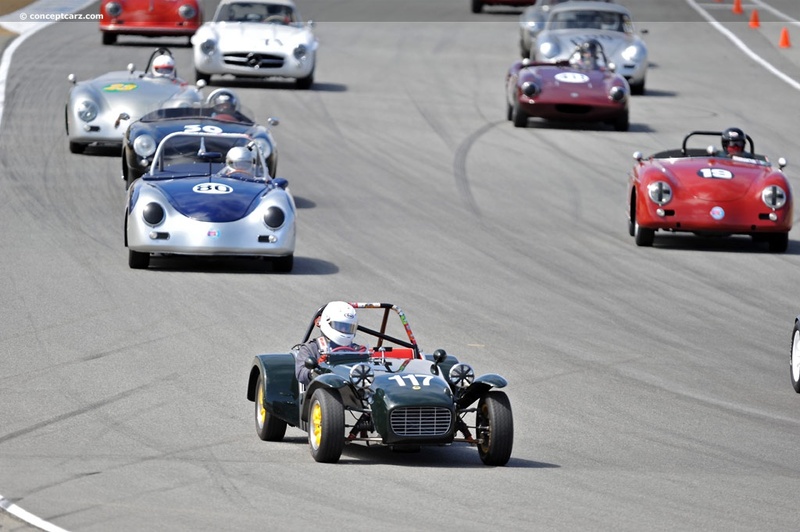 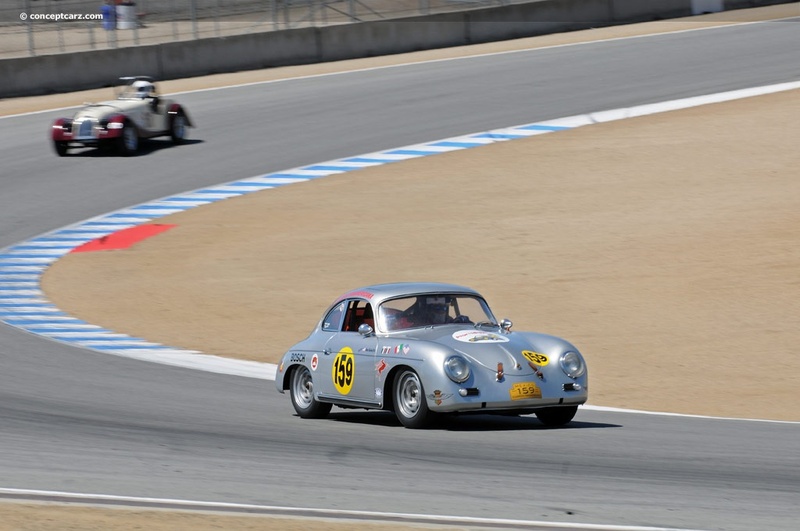 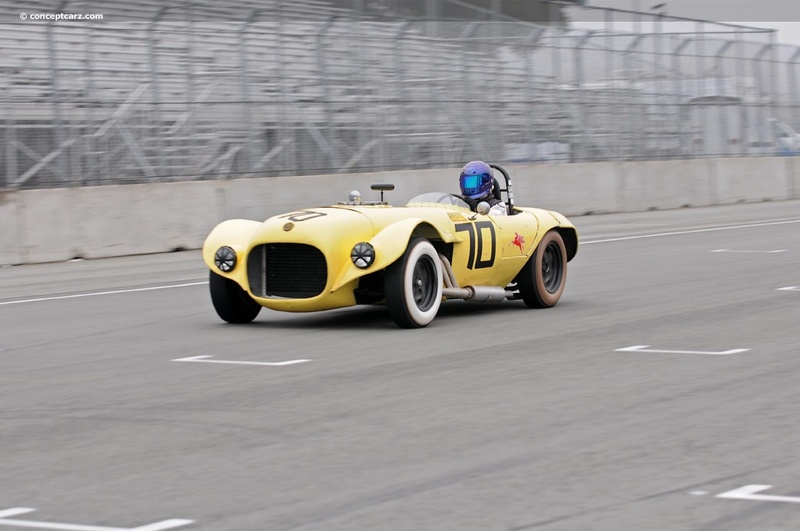 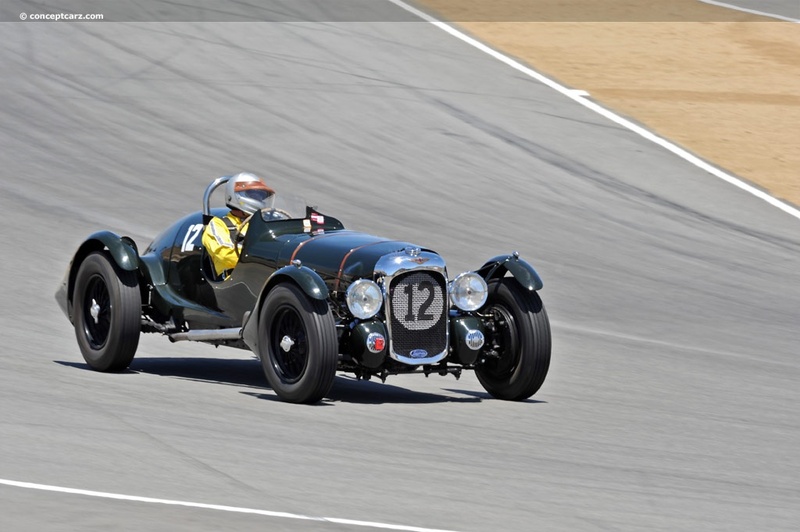 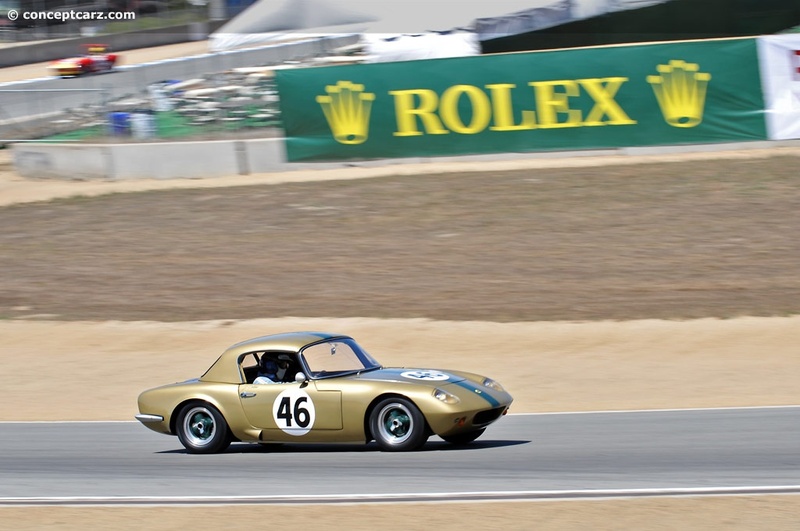 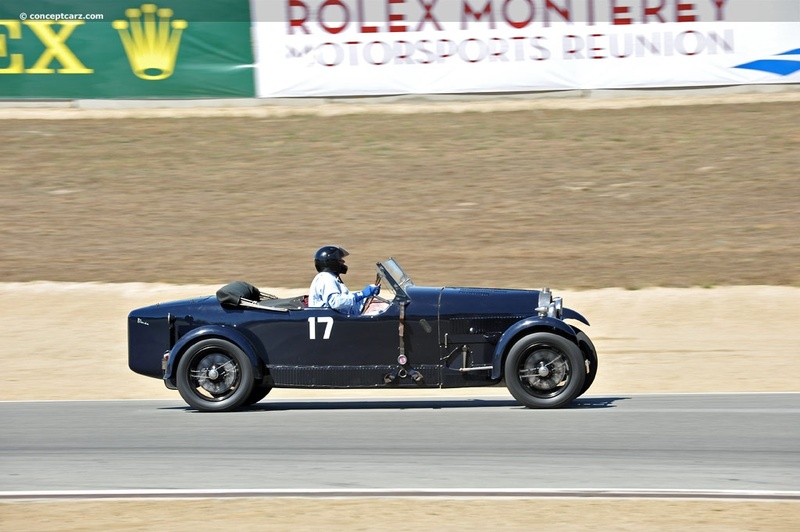 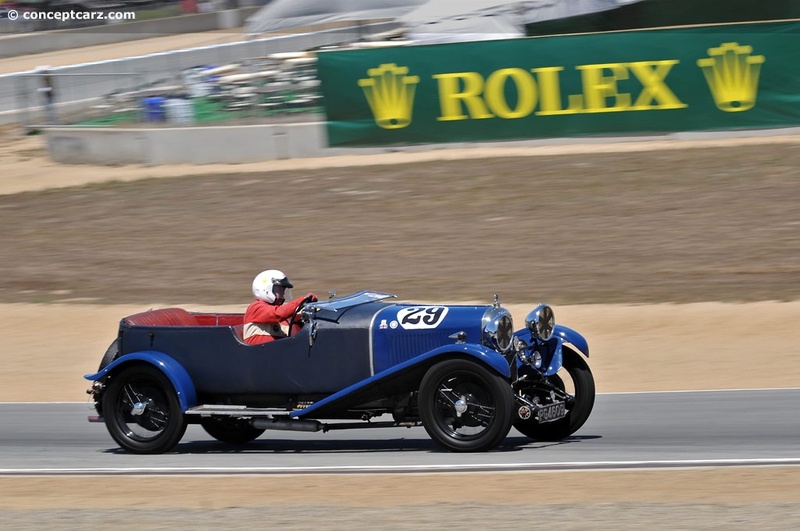 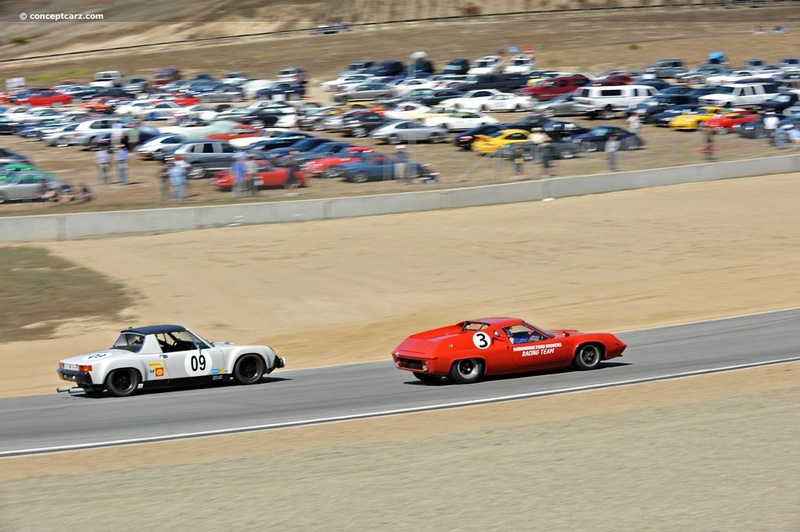 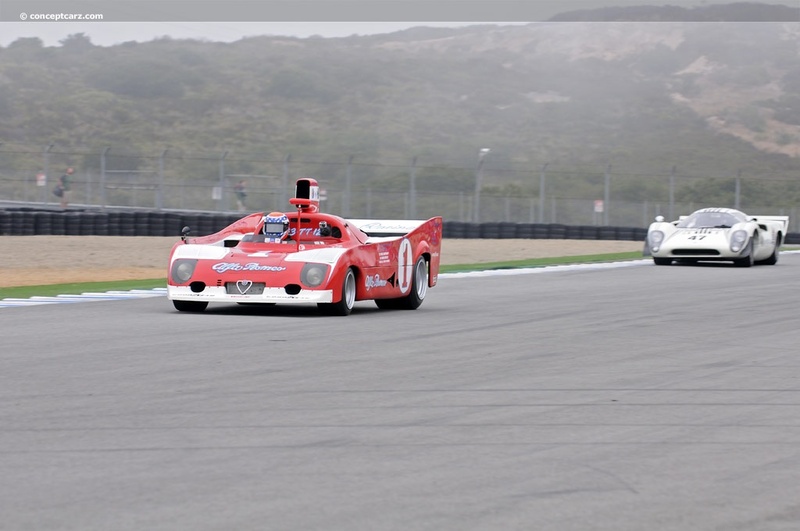 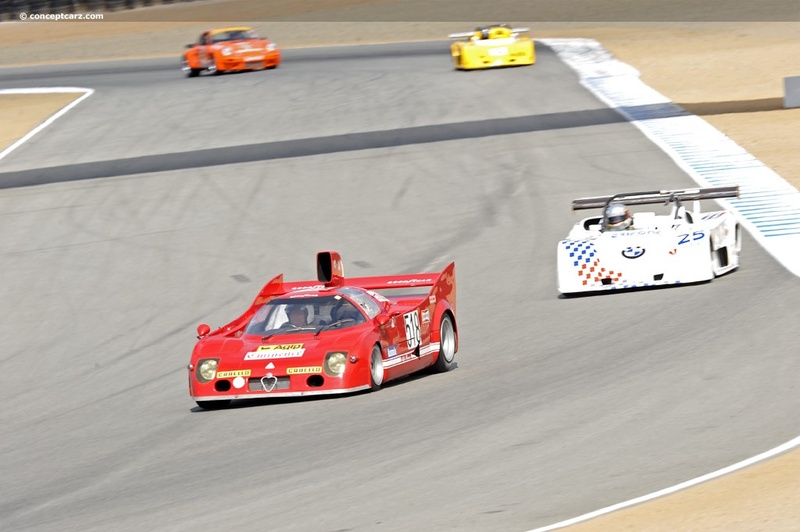 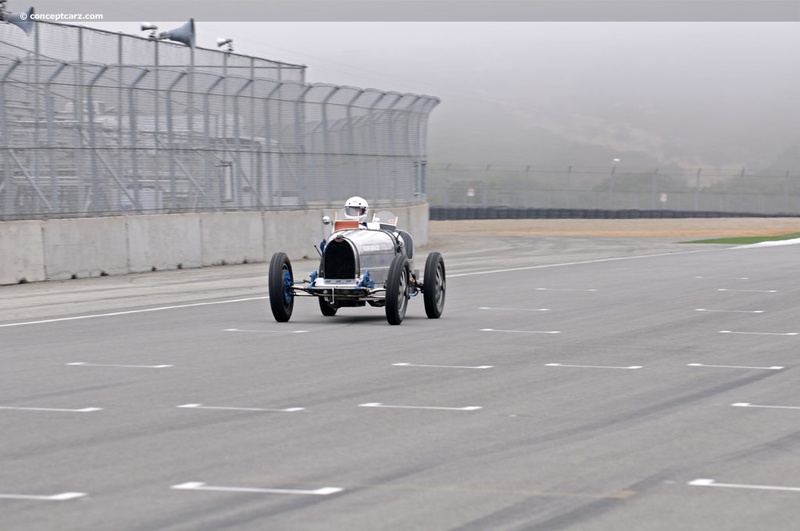 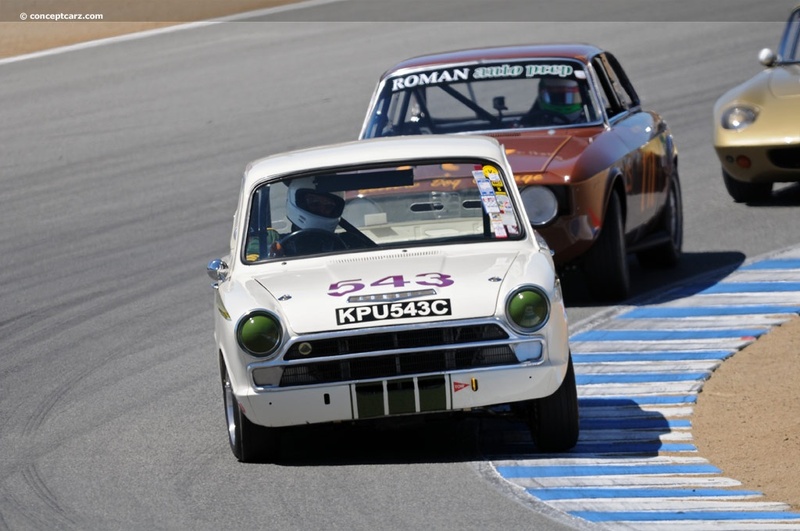 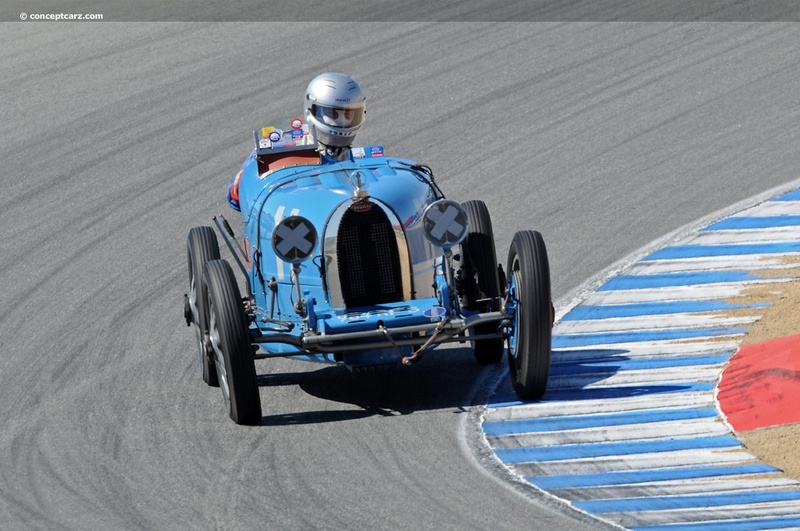 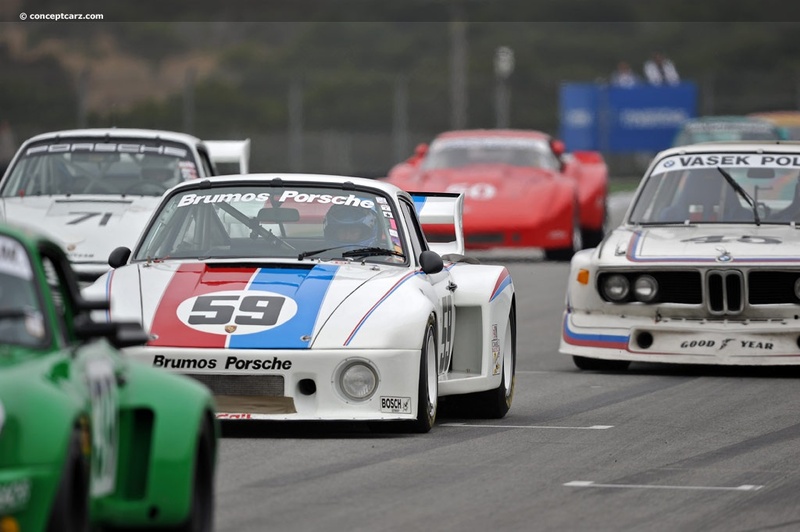 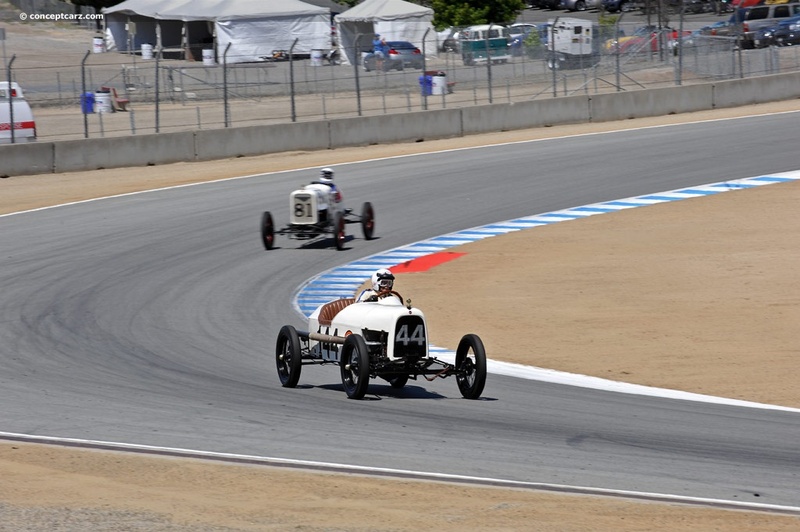 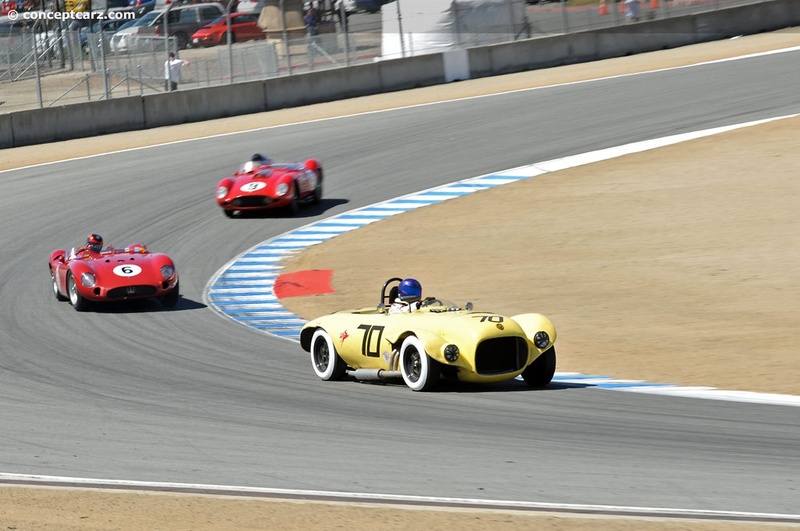 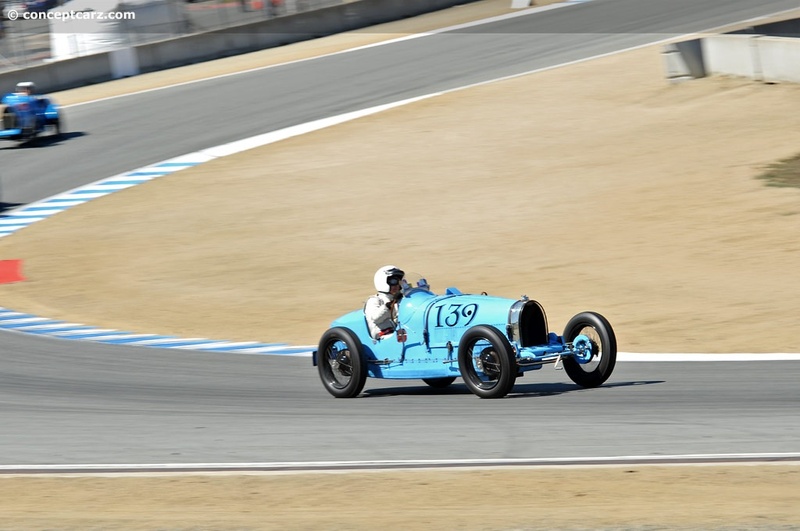 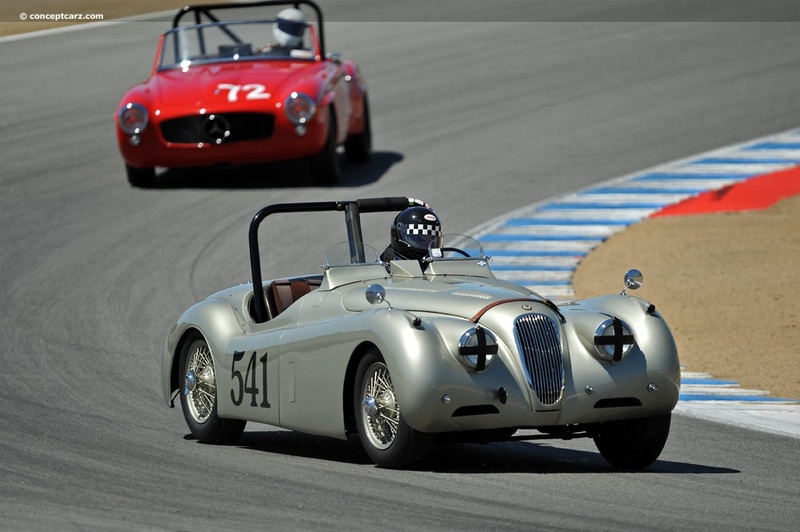 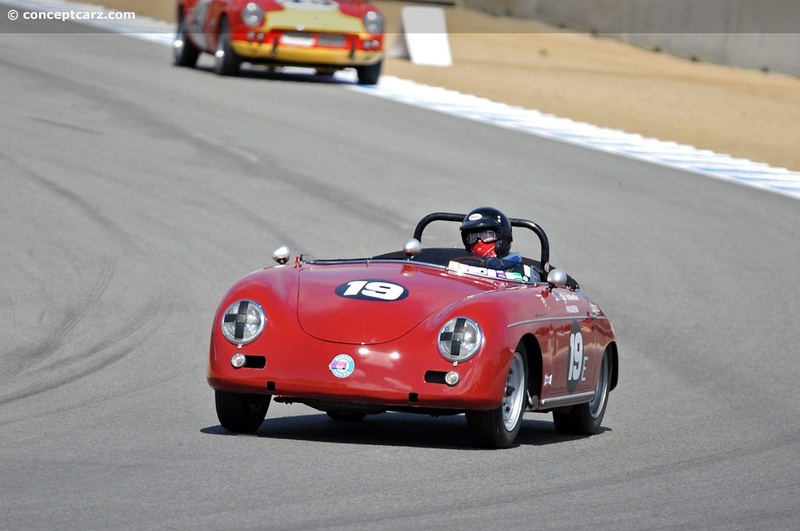 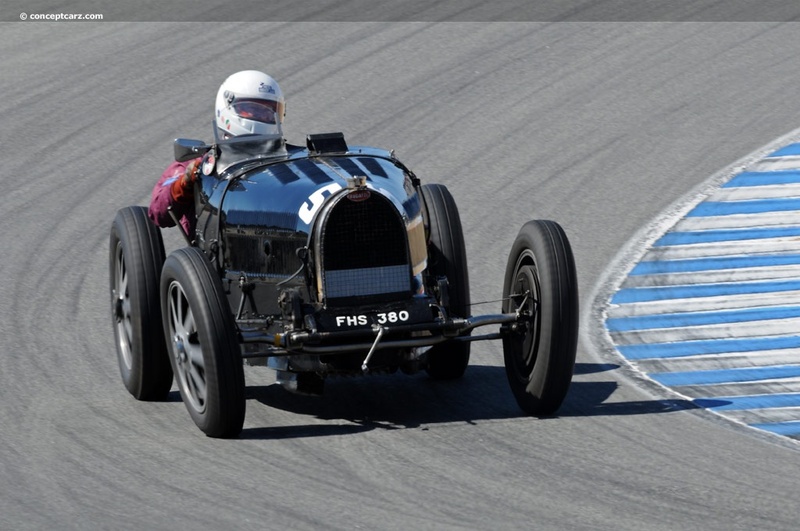 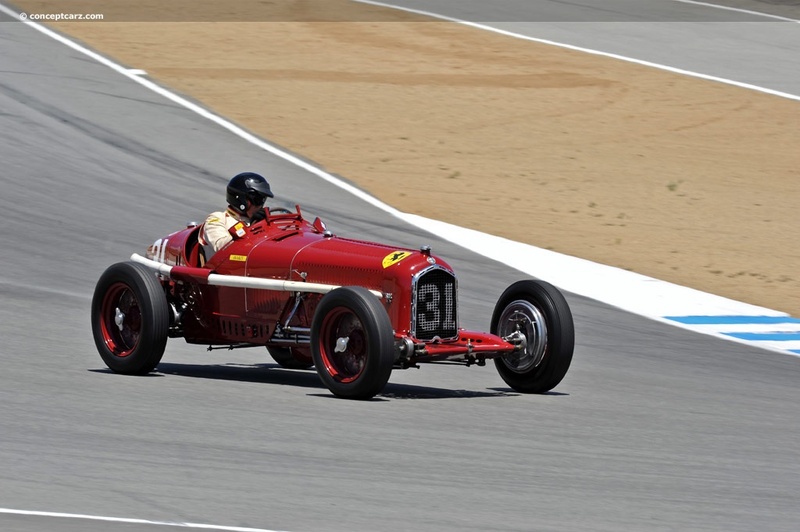 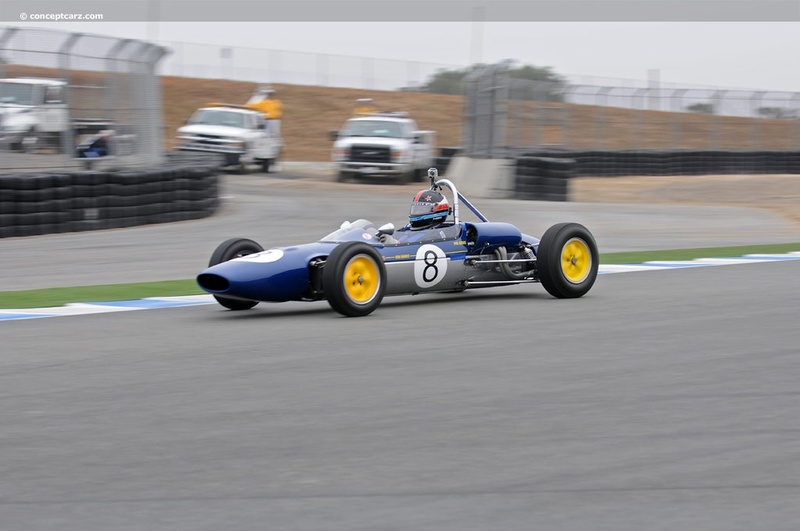 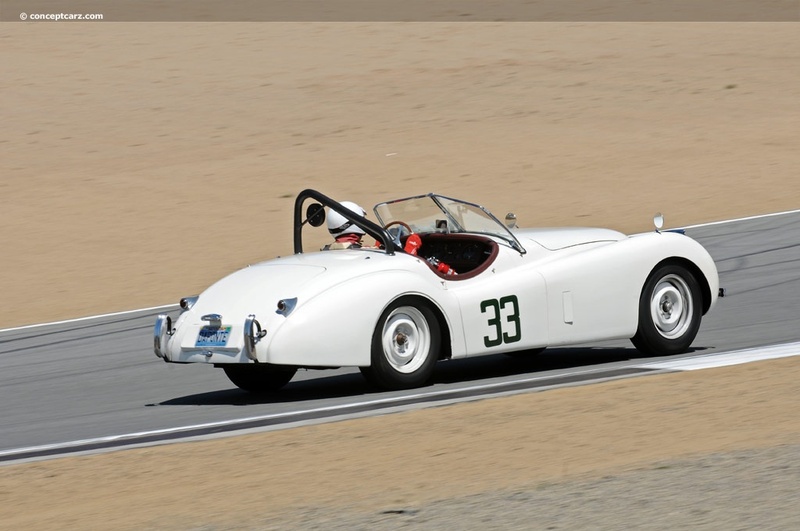 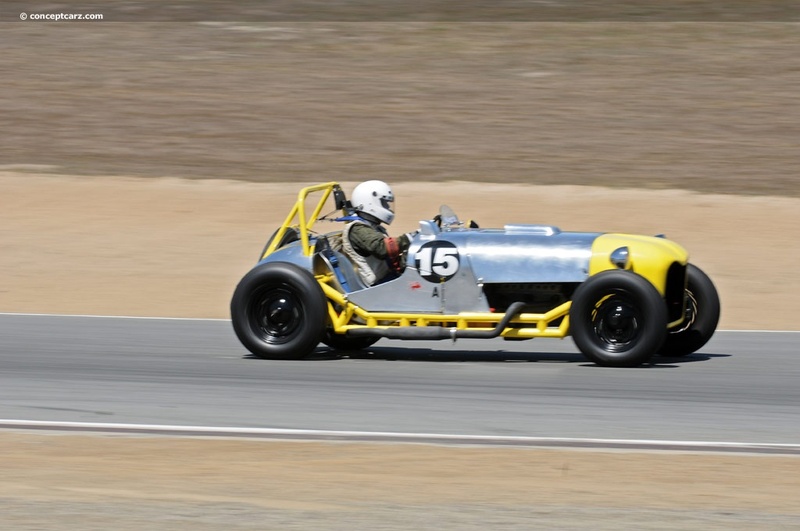 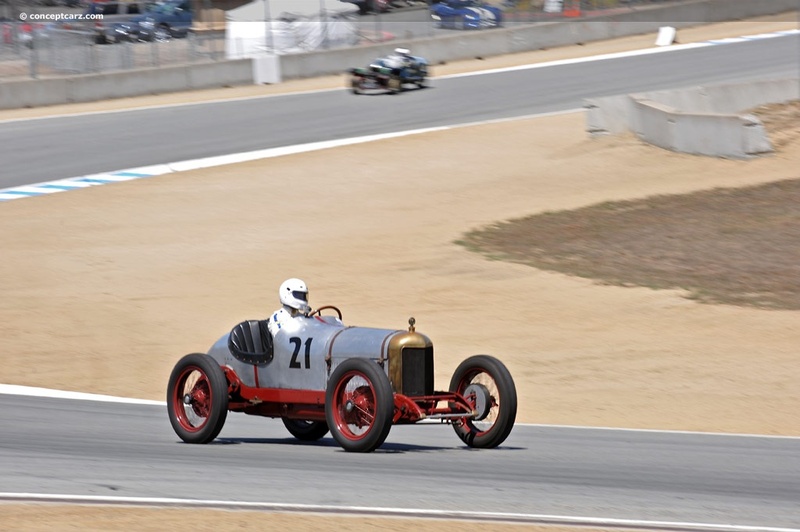 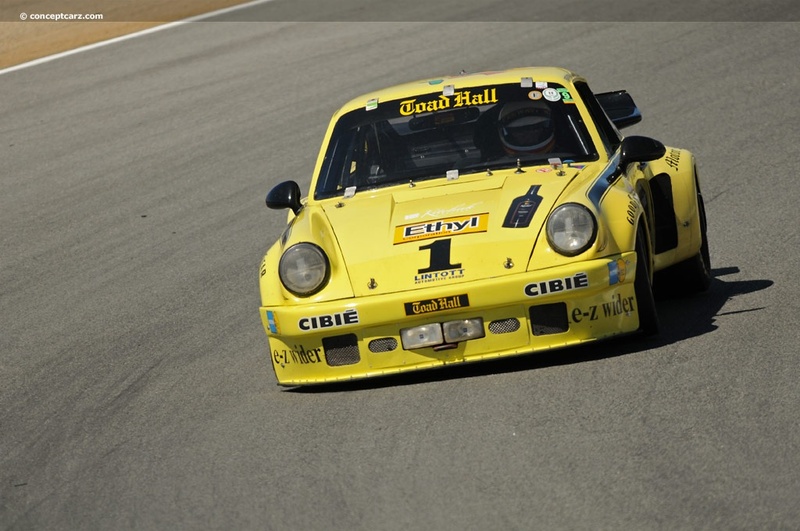 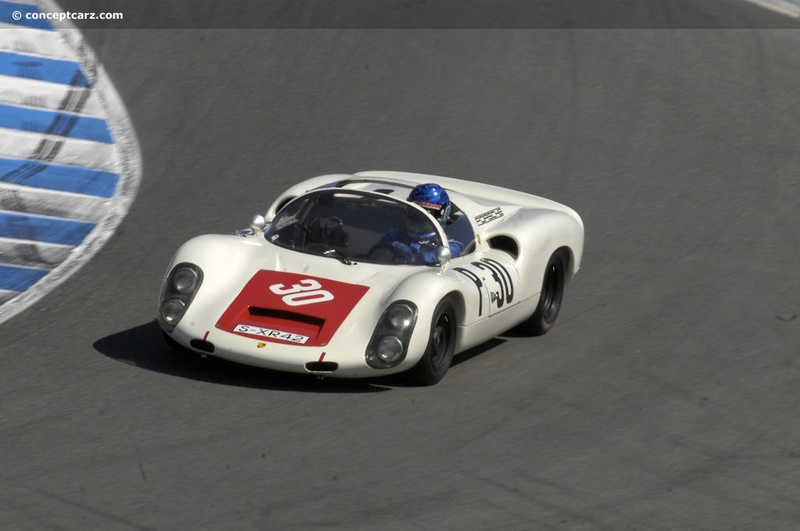 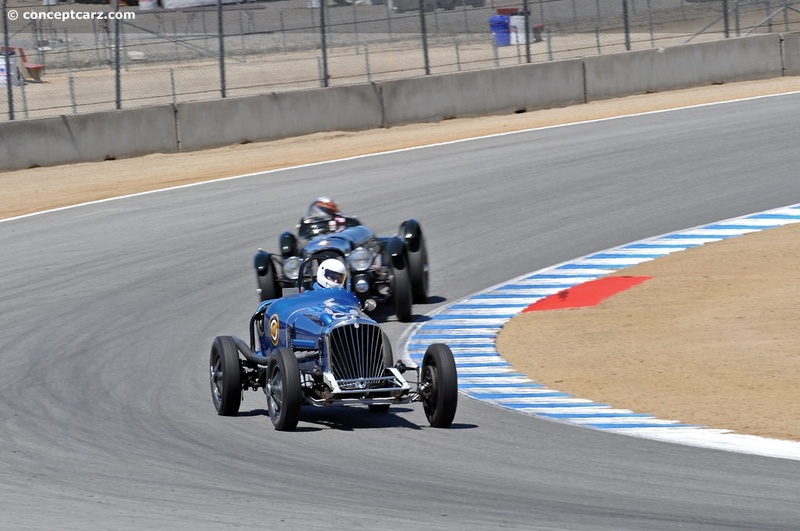 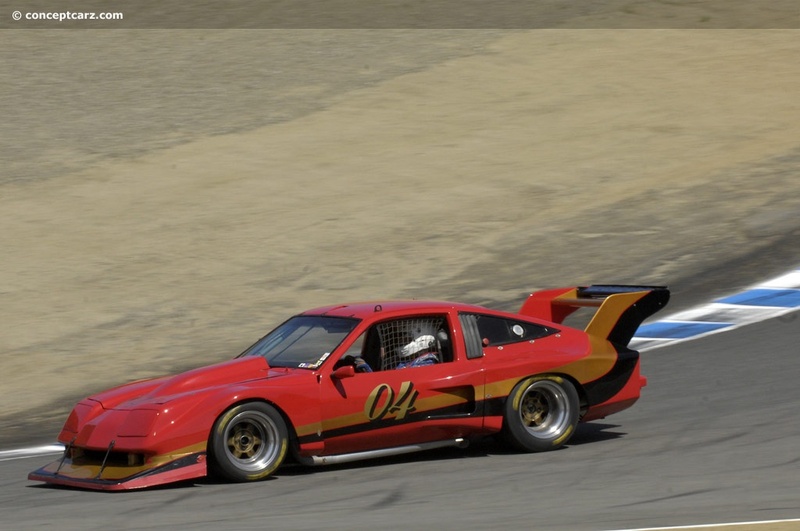 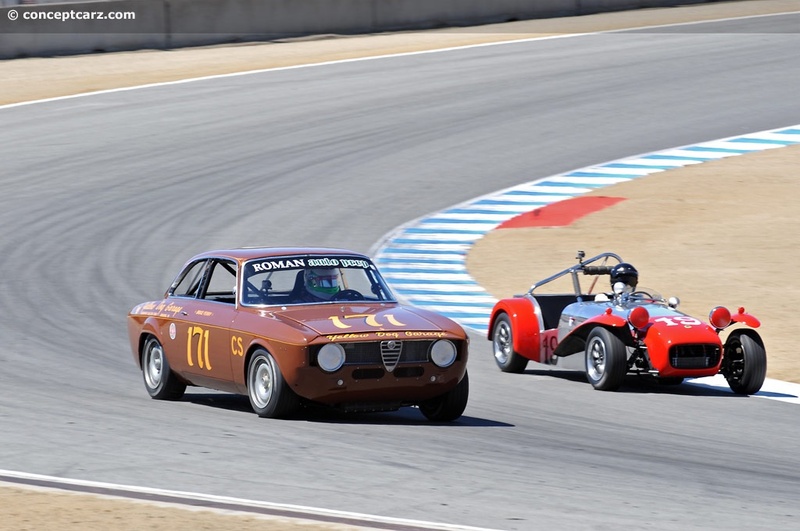 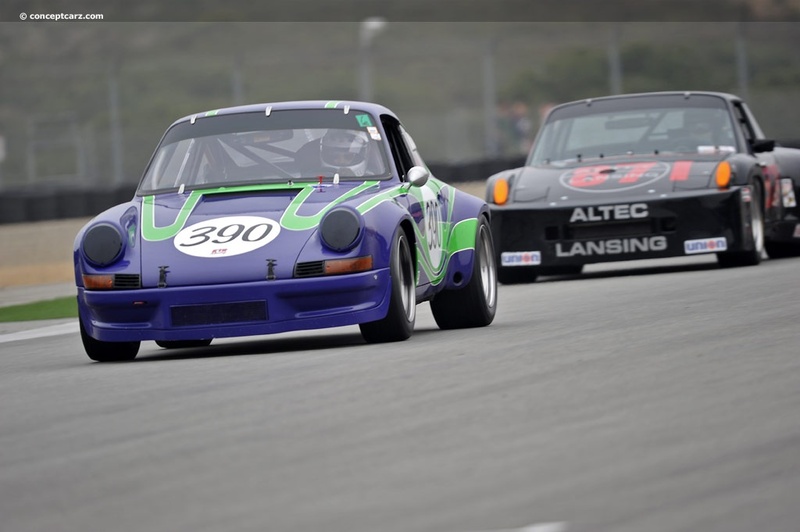 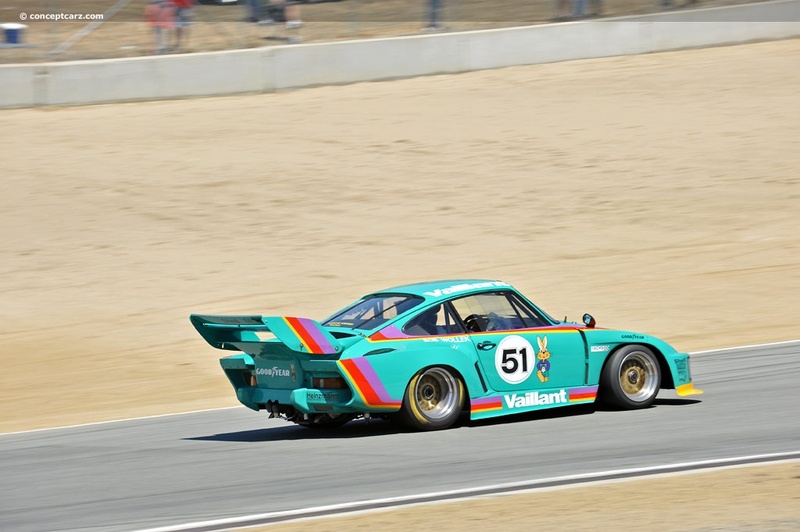 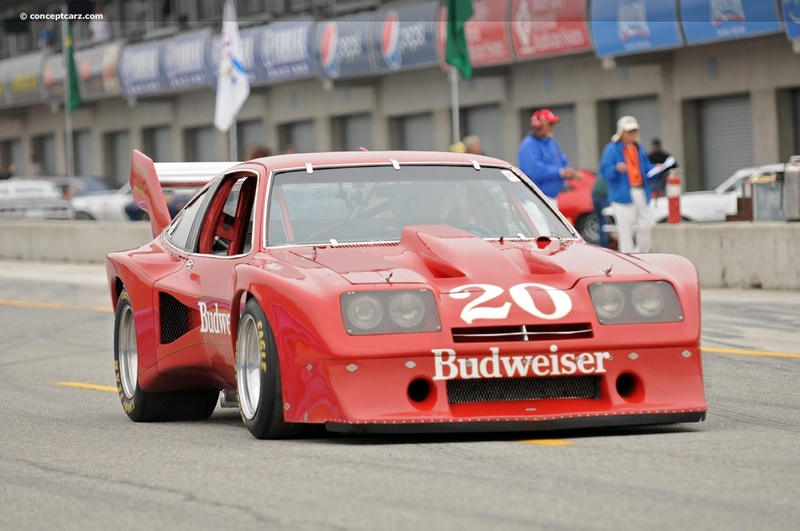 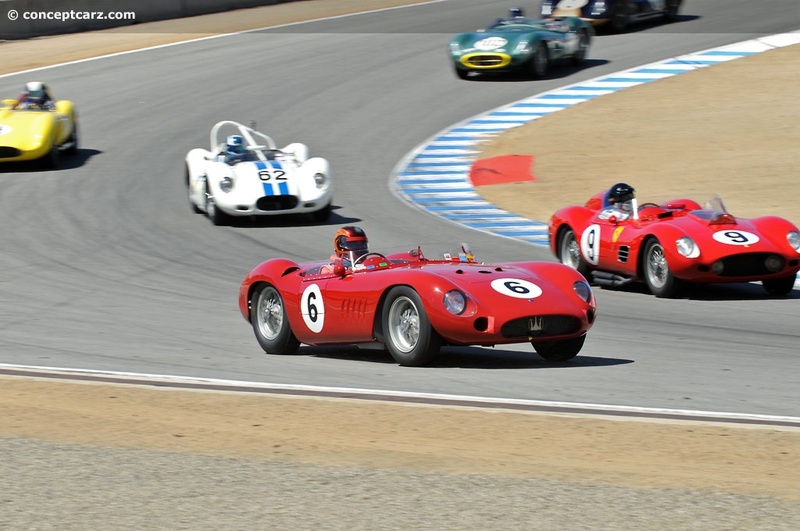 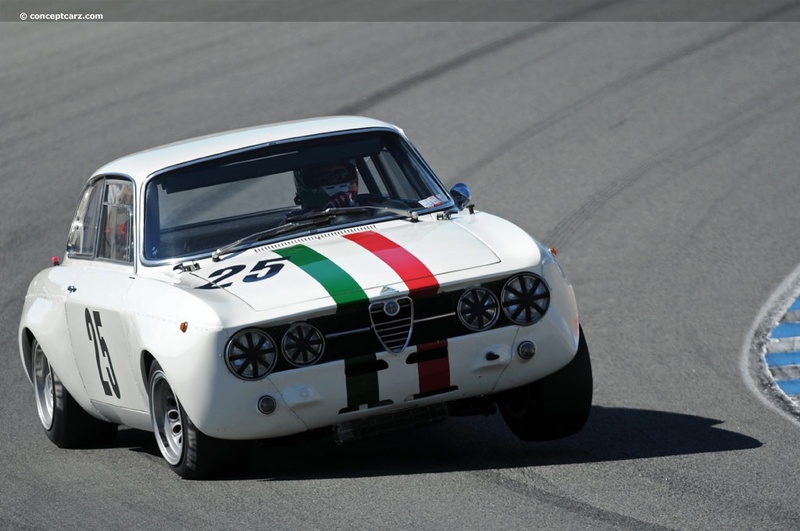 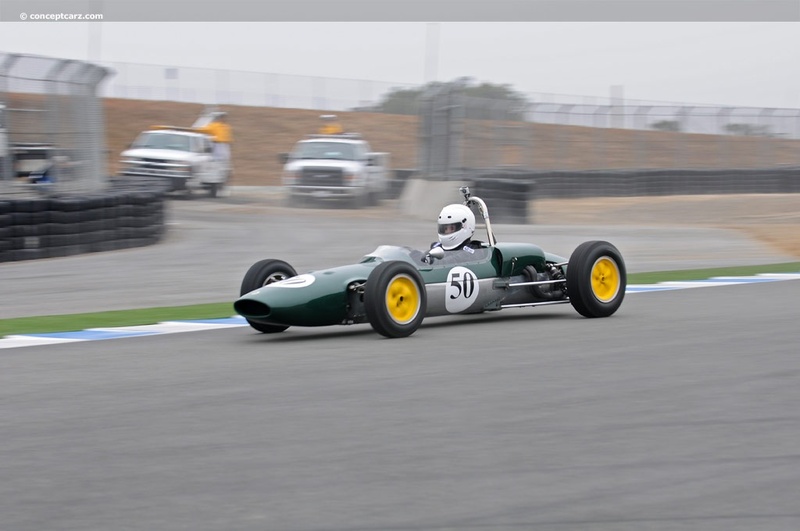 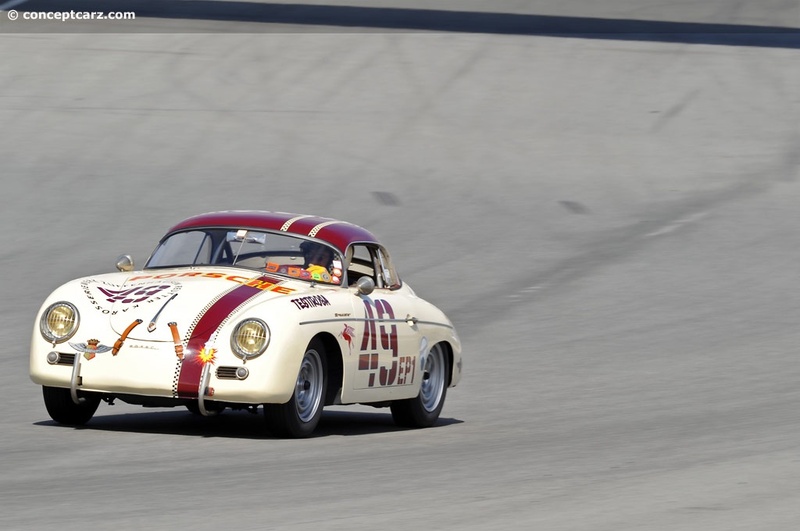 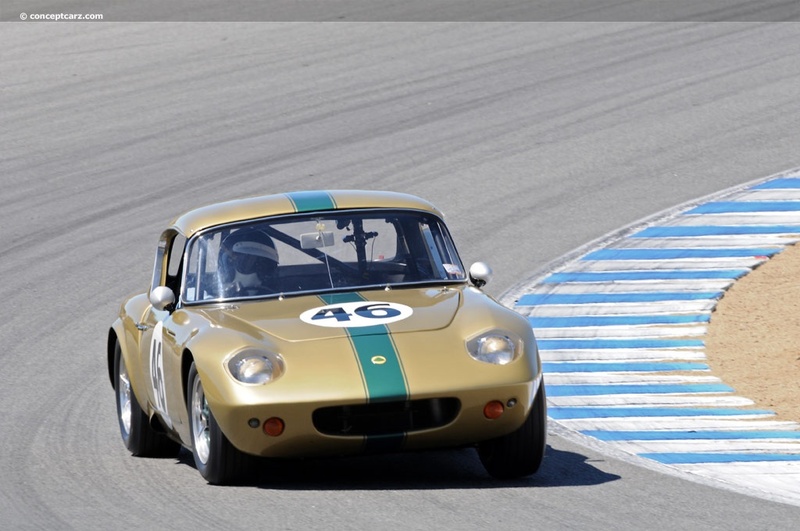 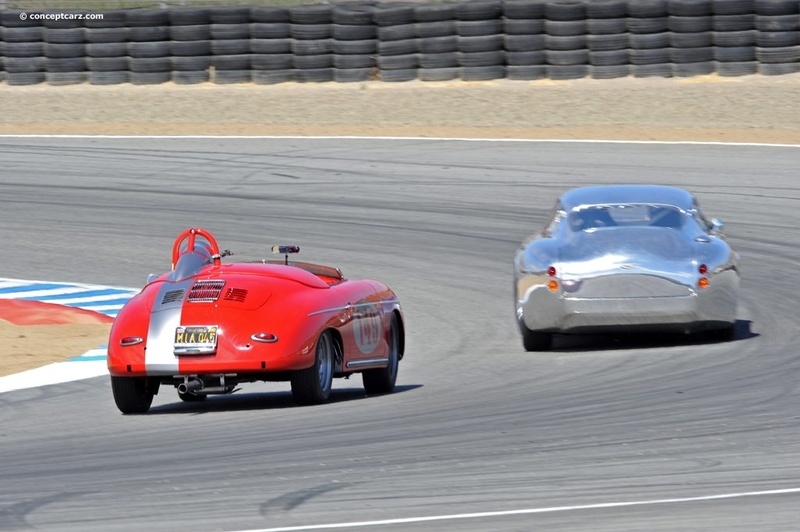 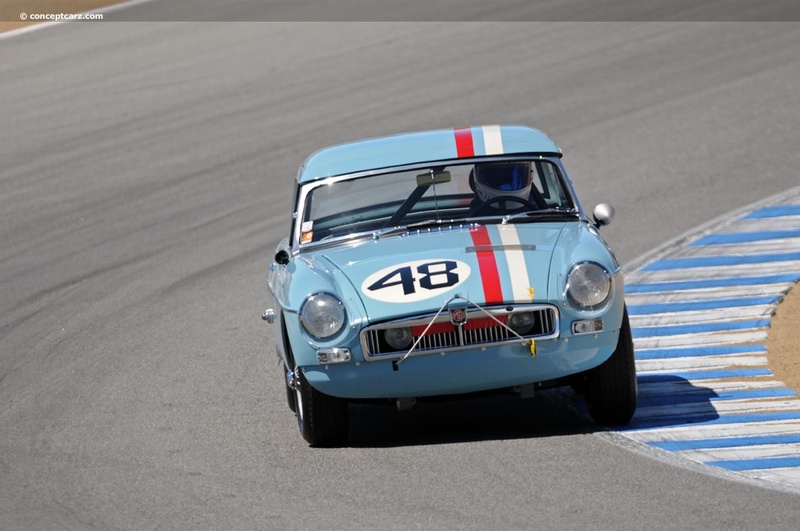 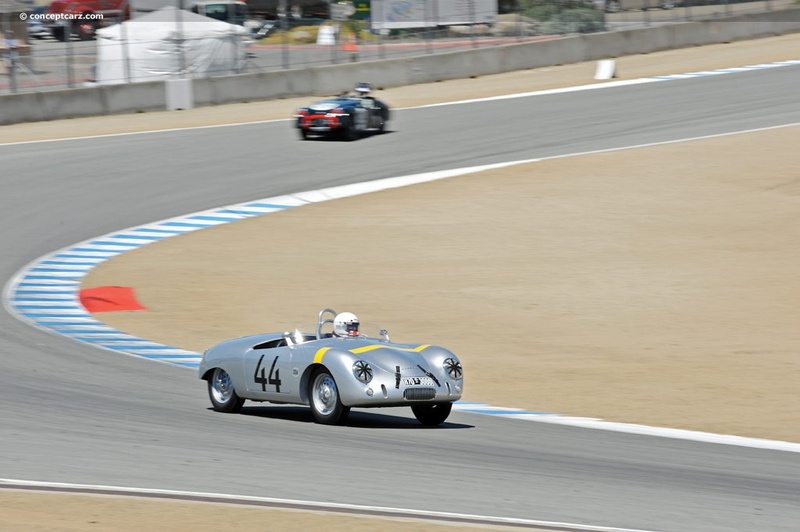 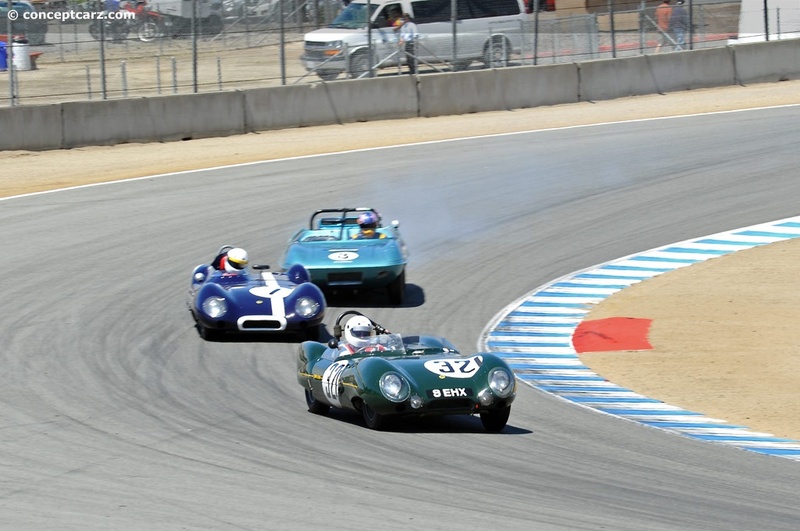 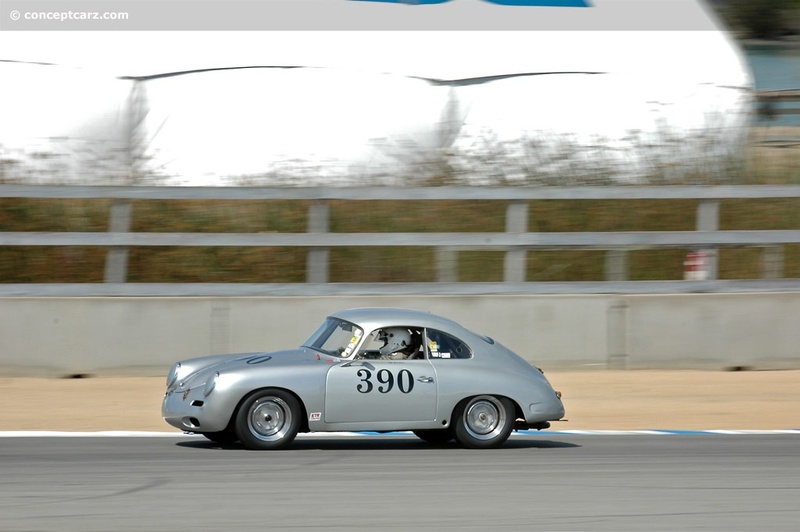 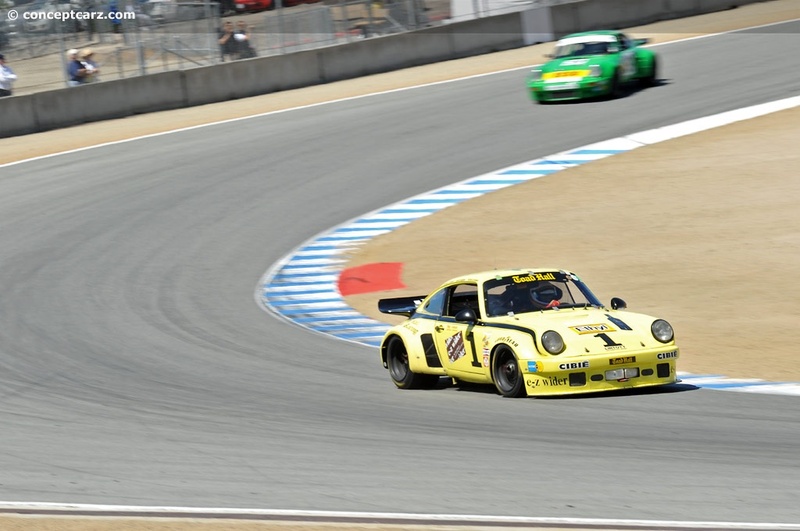 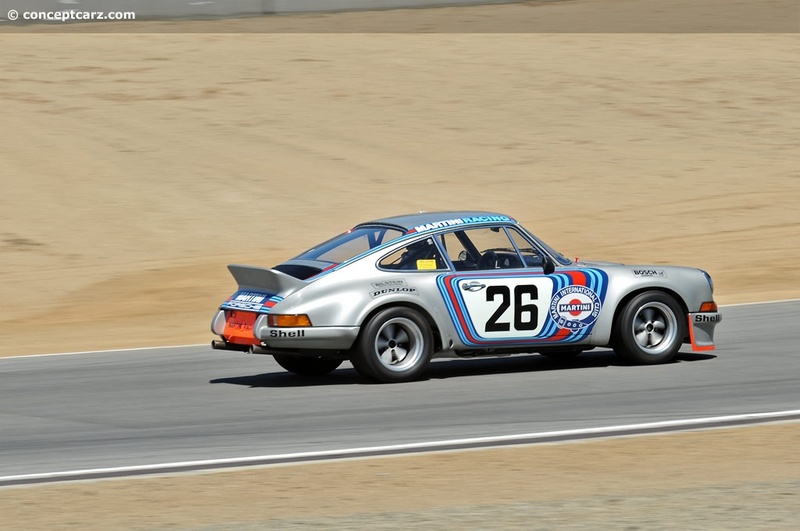 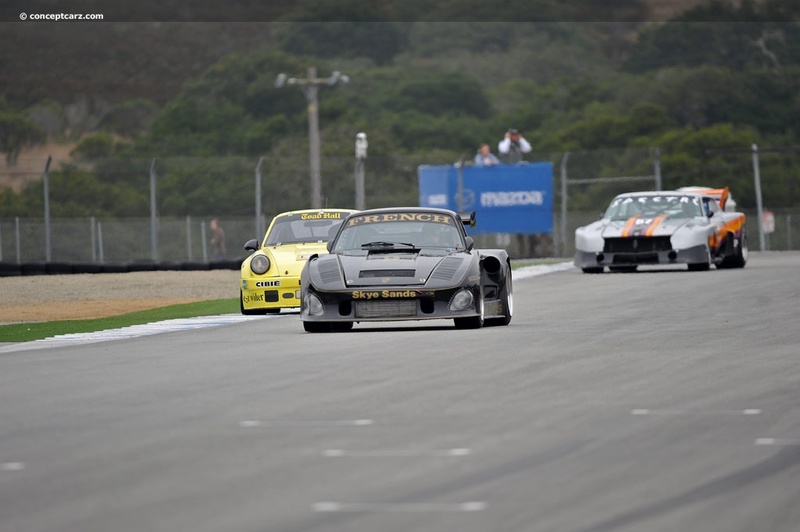 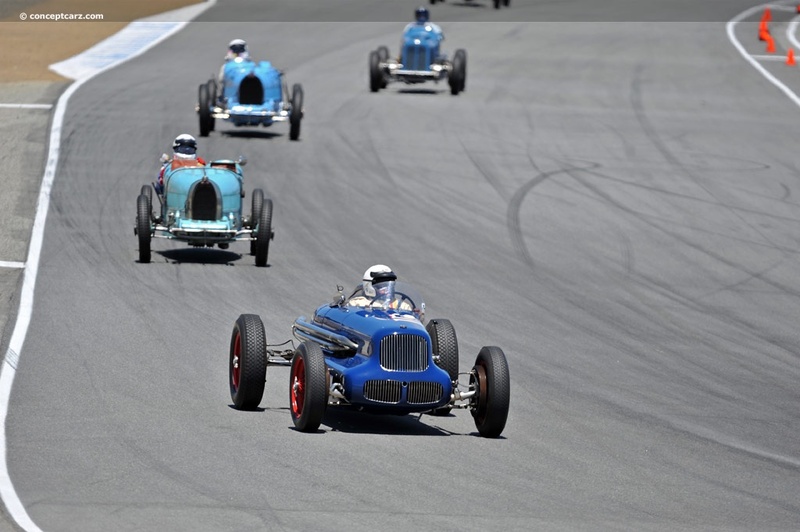 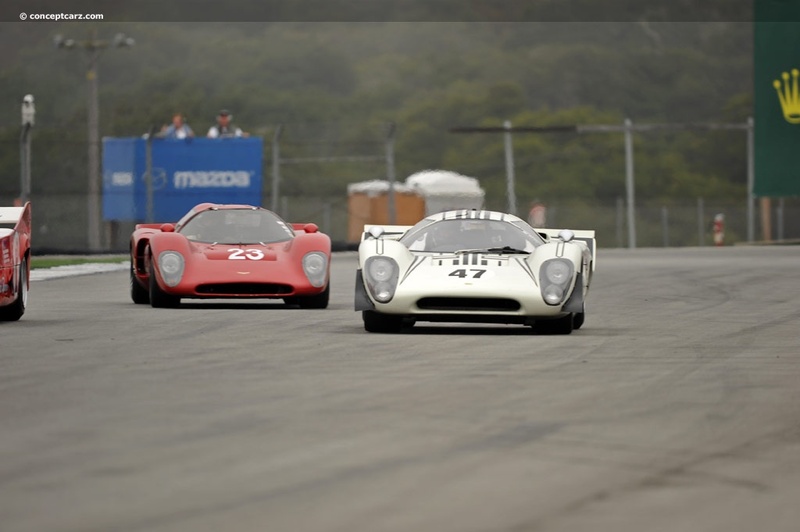 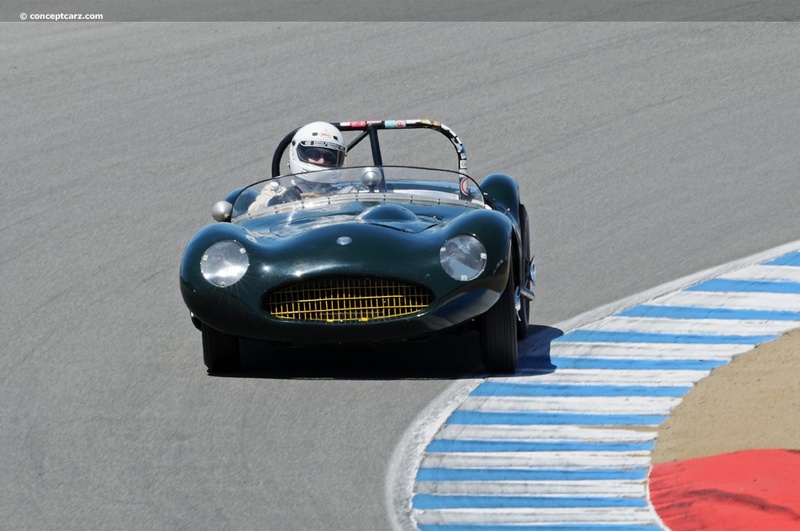 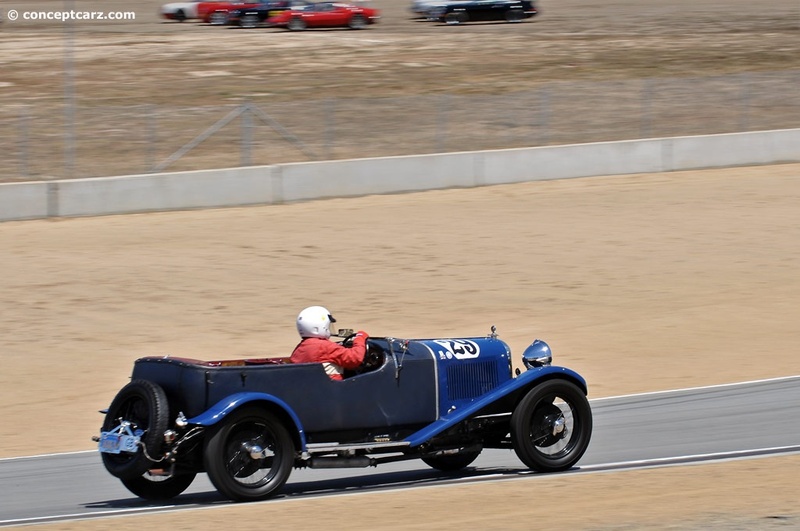 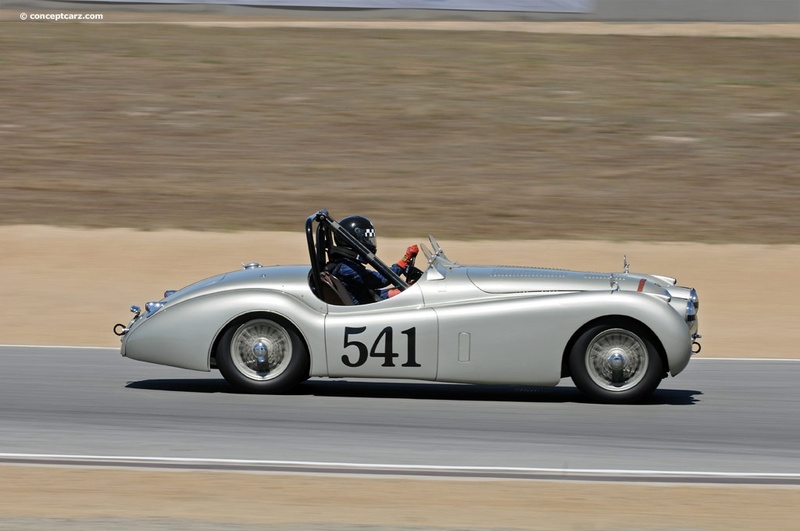 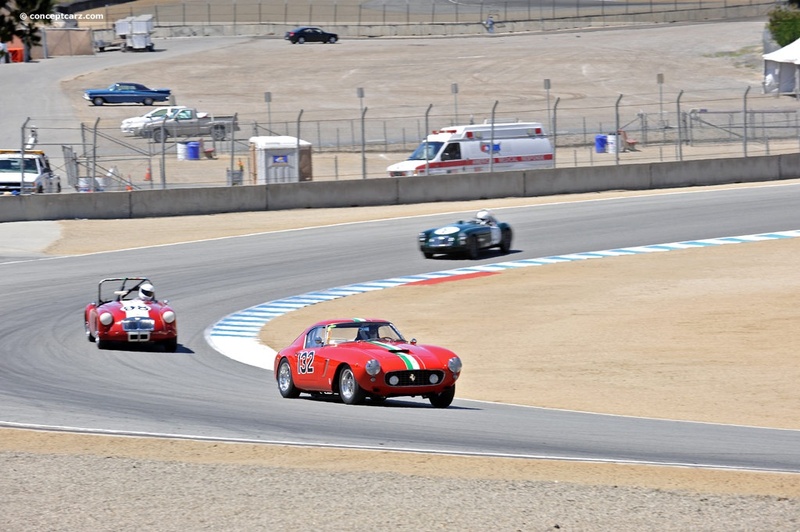 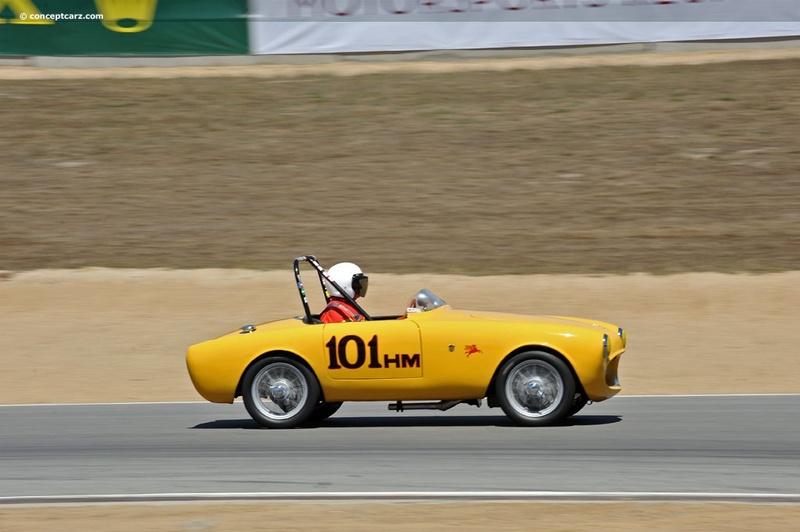 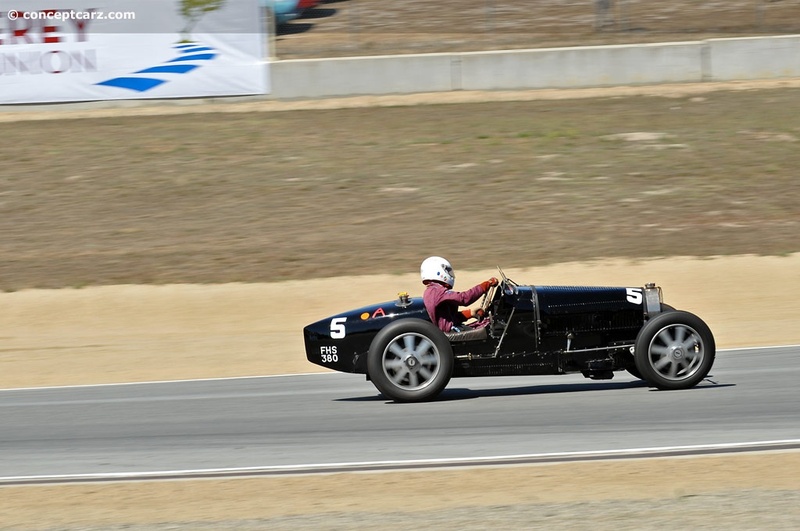 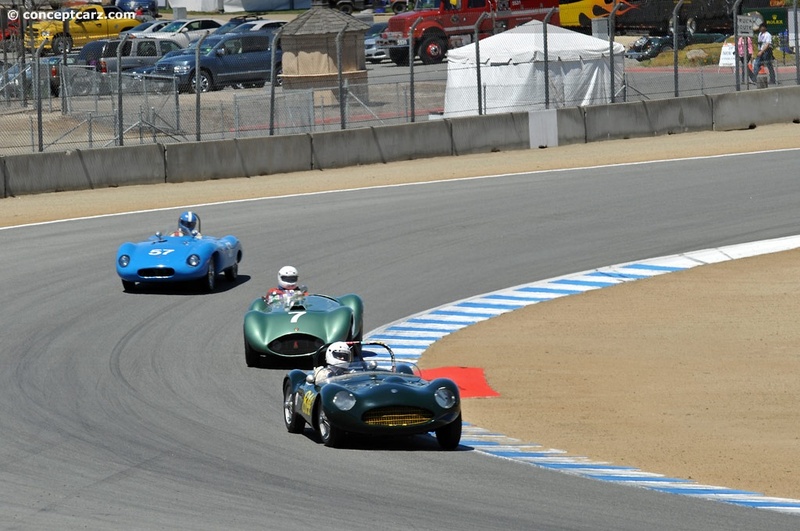 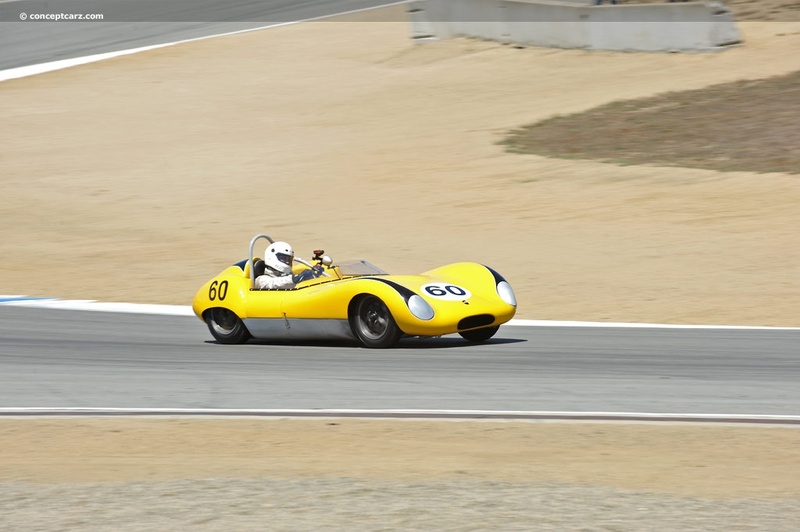 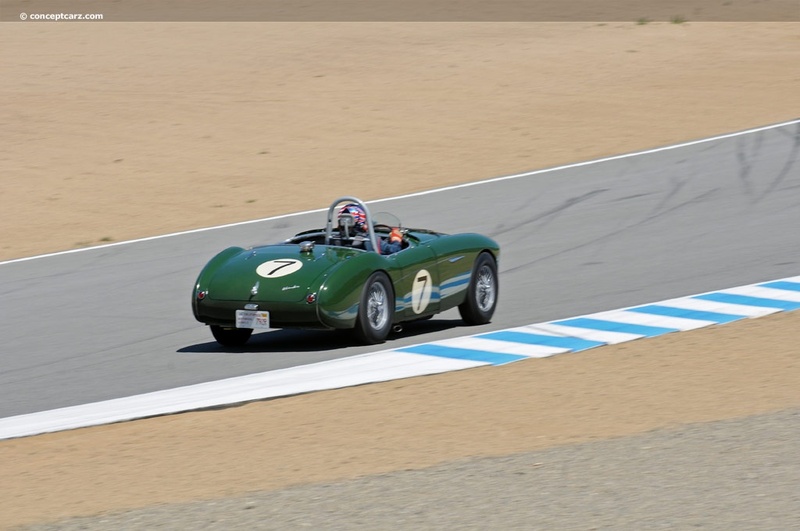 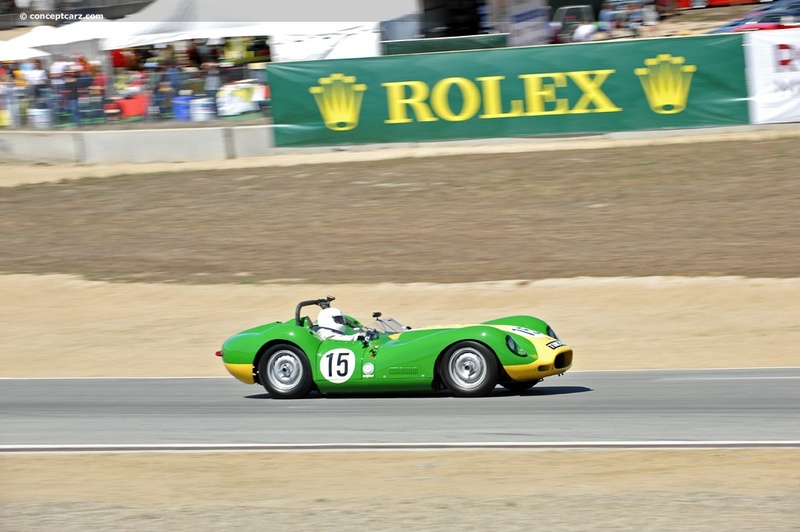 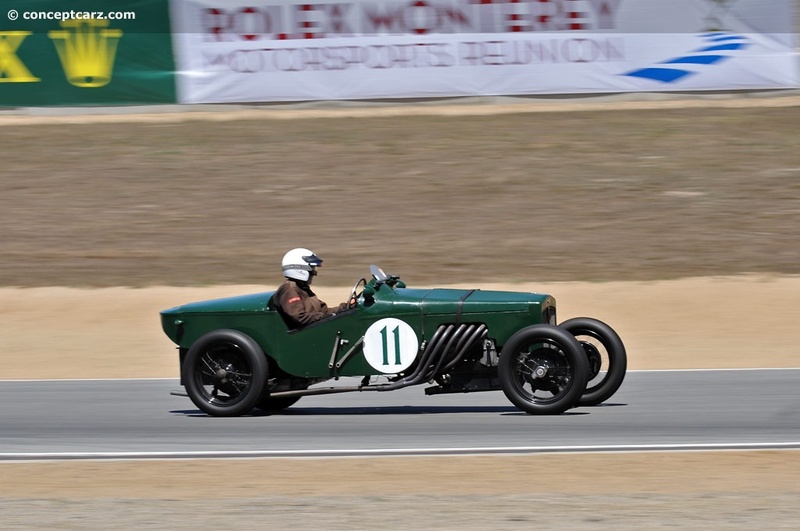 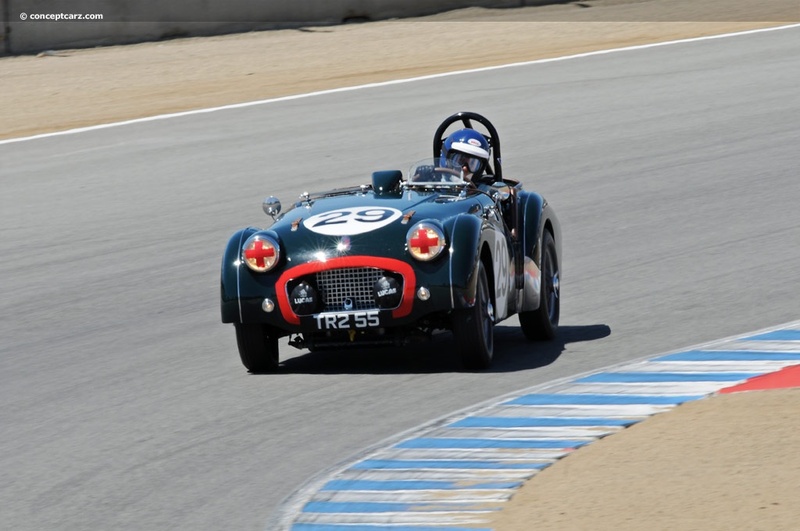 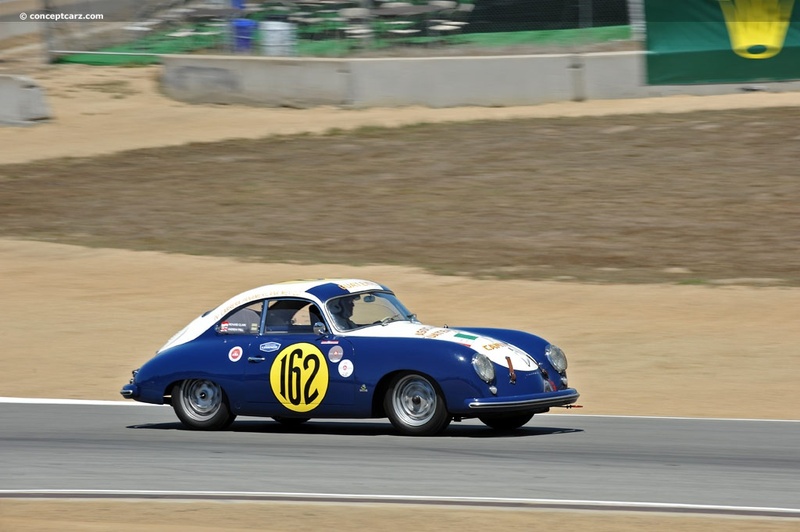 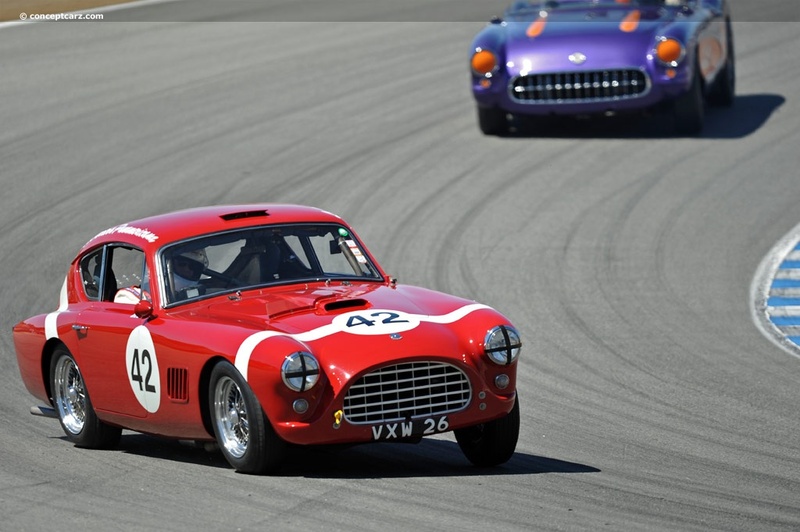 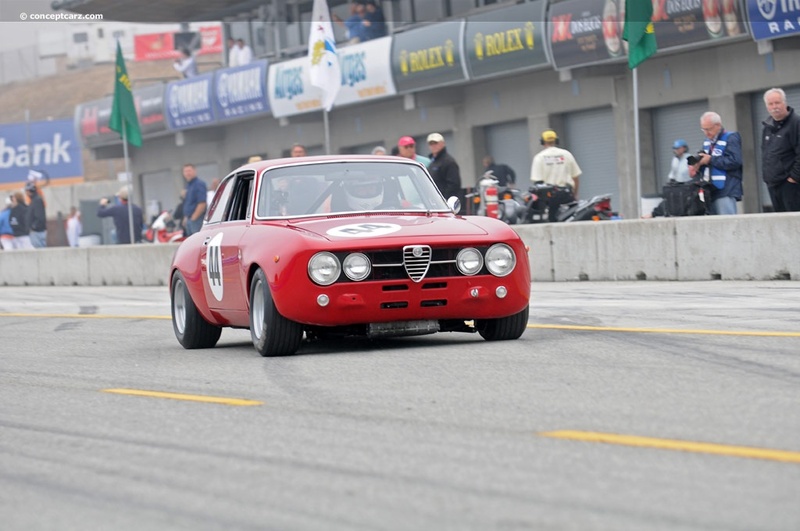 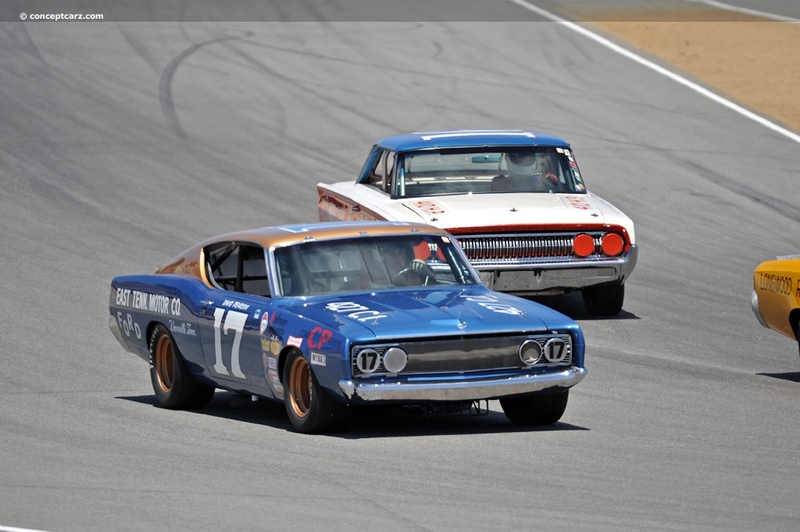 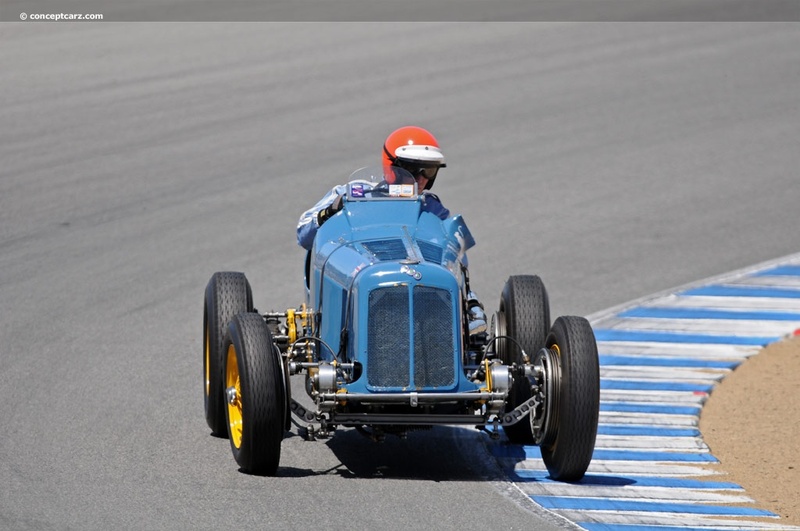 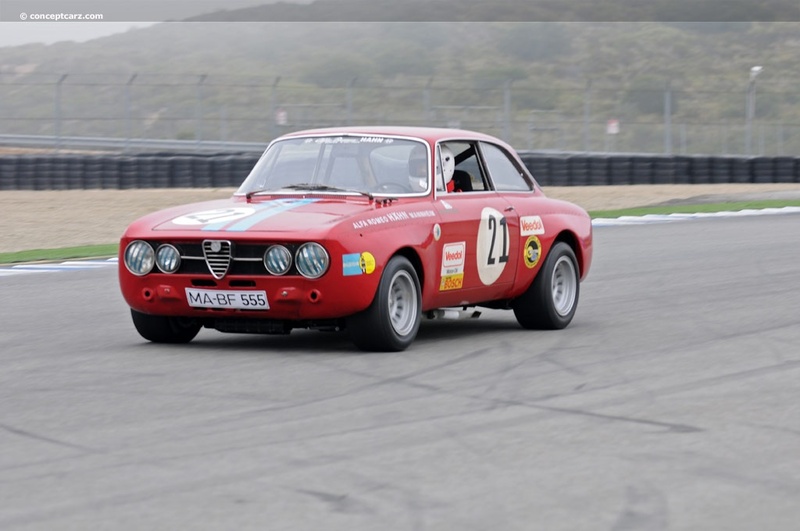 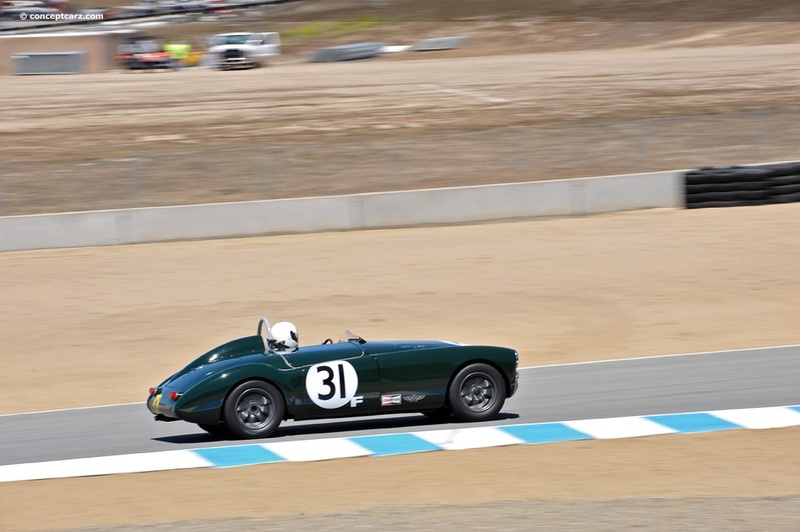 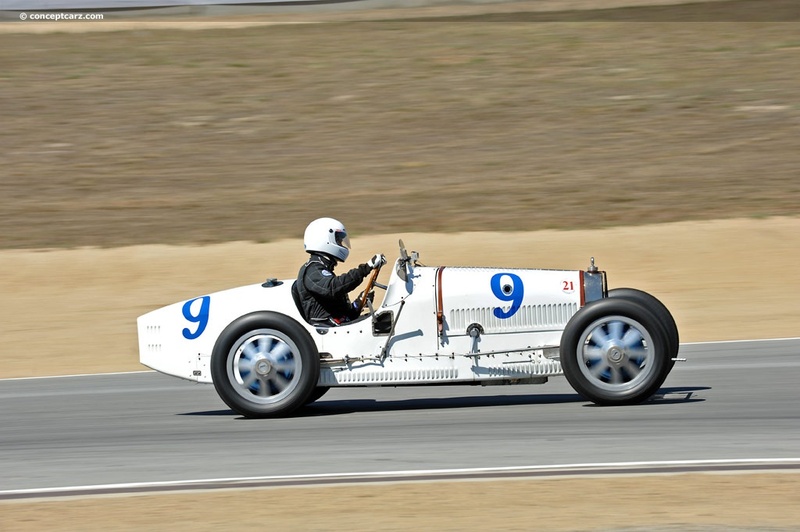 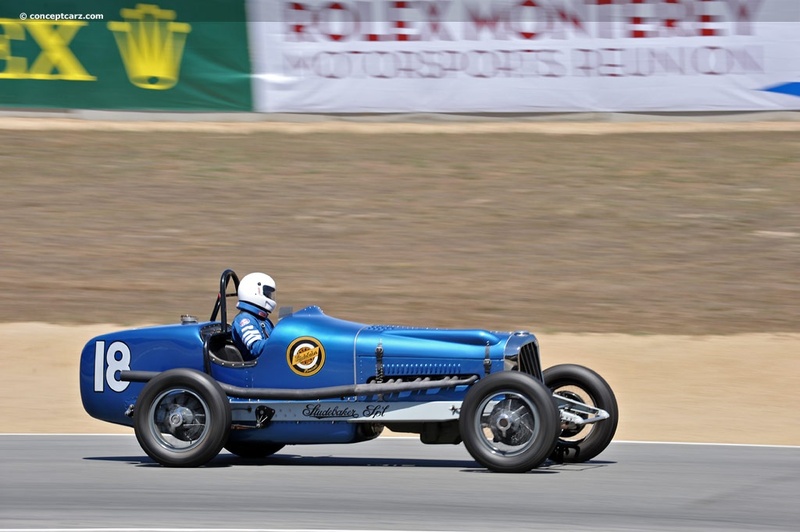 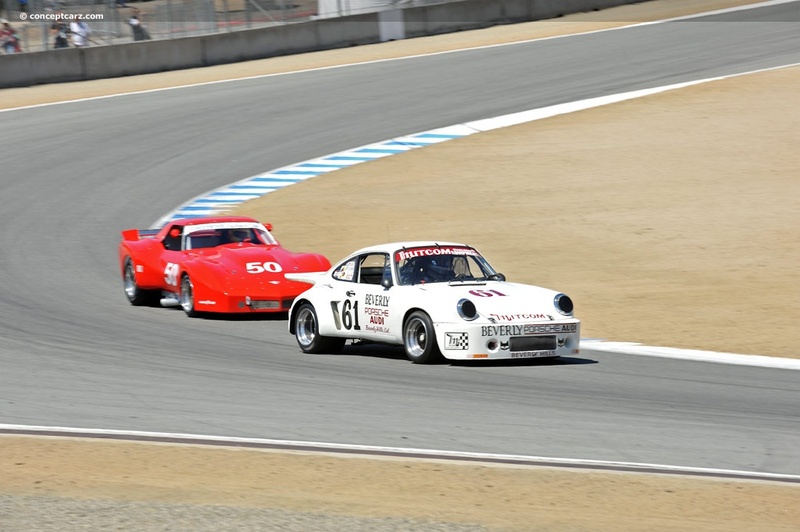 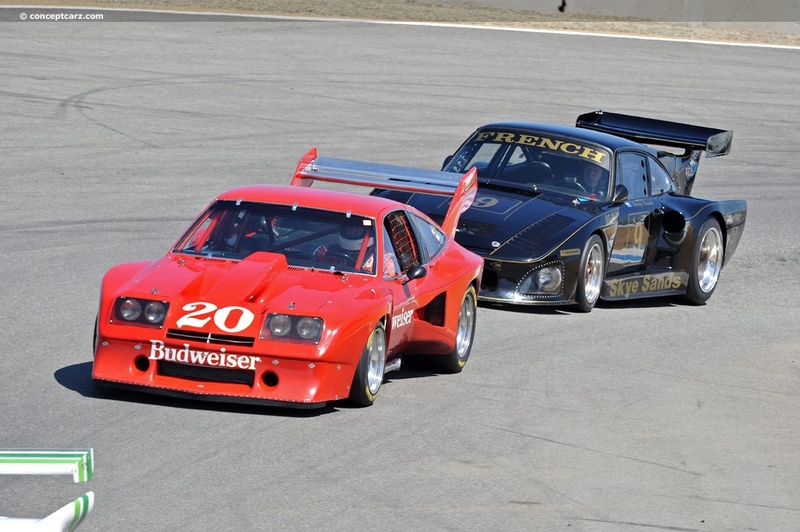 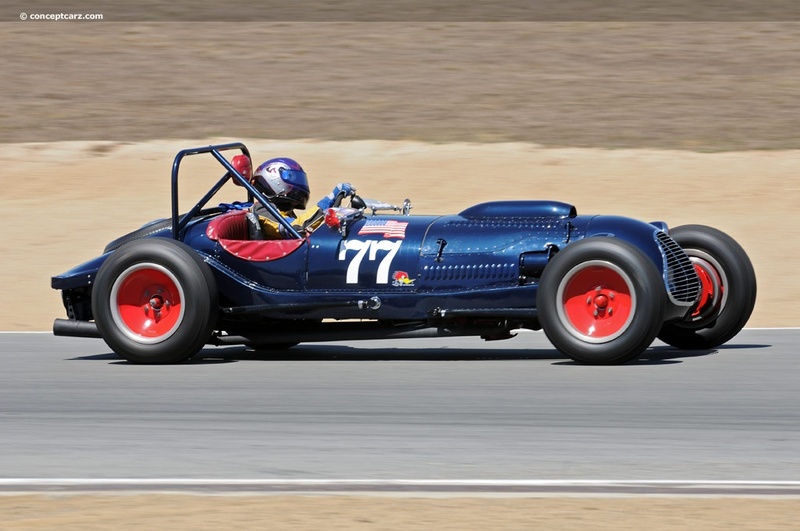 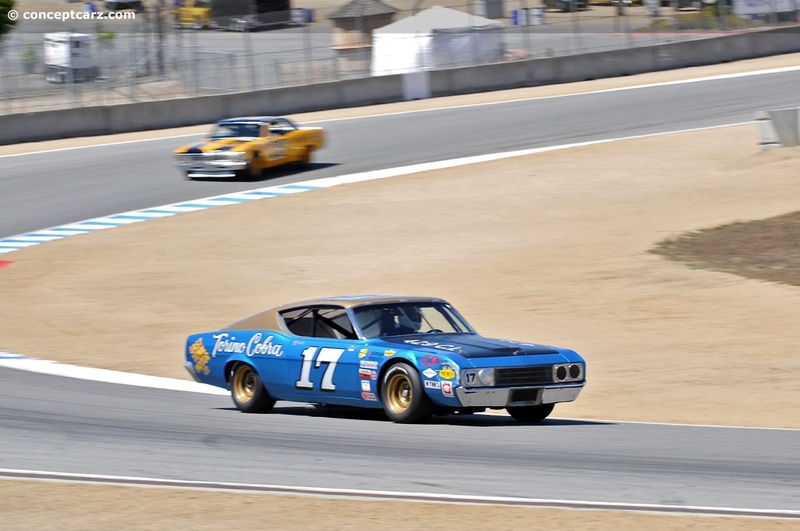 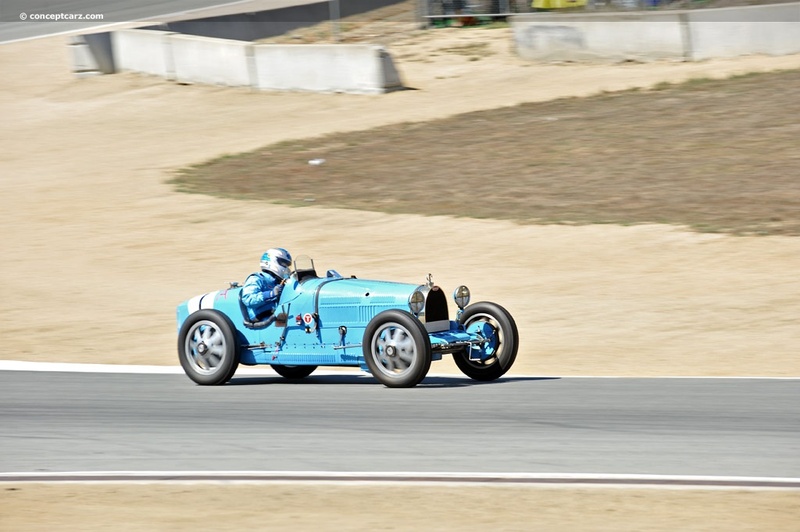 The 2010 Rolex Monterey Motorsports Reunion (formerly known as the Monterey Historics) had entrants representing 13 countries and over 600 historic cars competing at the annual event held at Mazda Raceway Laguna Seca. 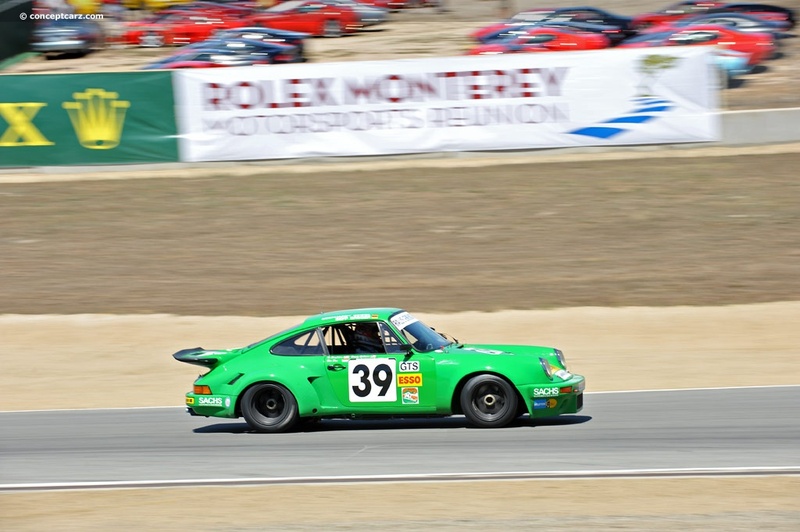 Prior to the start of the races, big changes were announced, including the news that Steve Earle and his company General Racing had not organized the event. 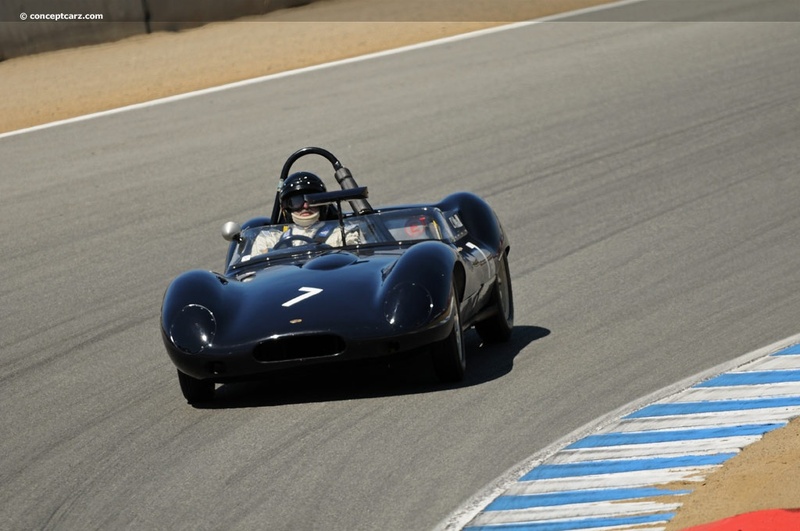 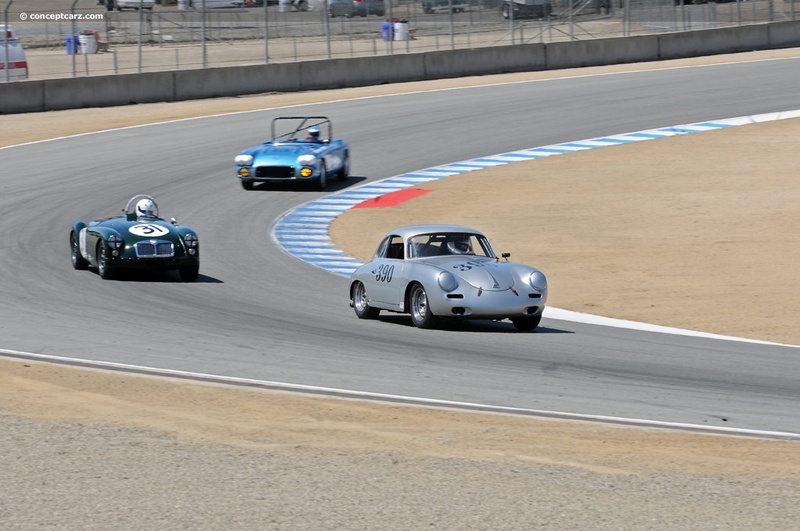 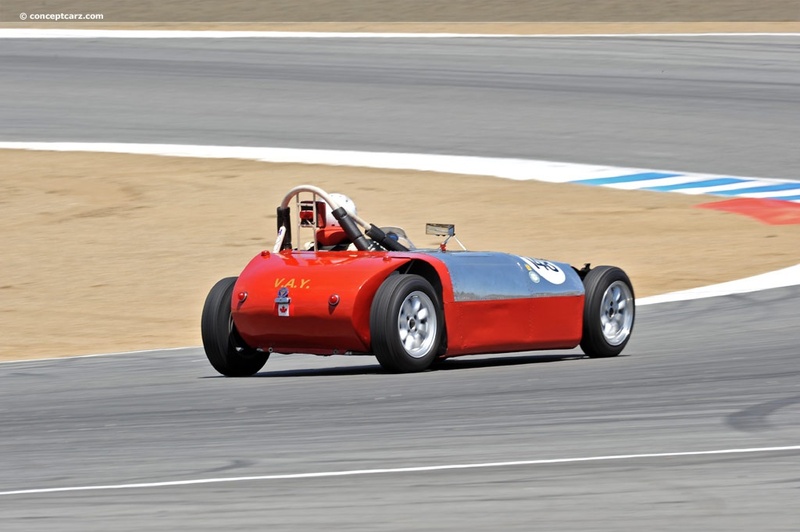 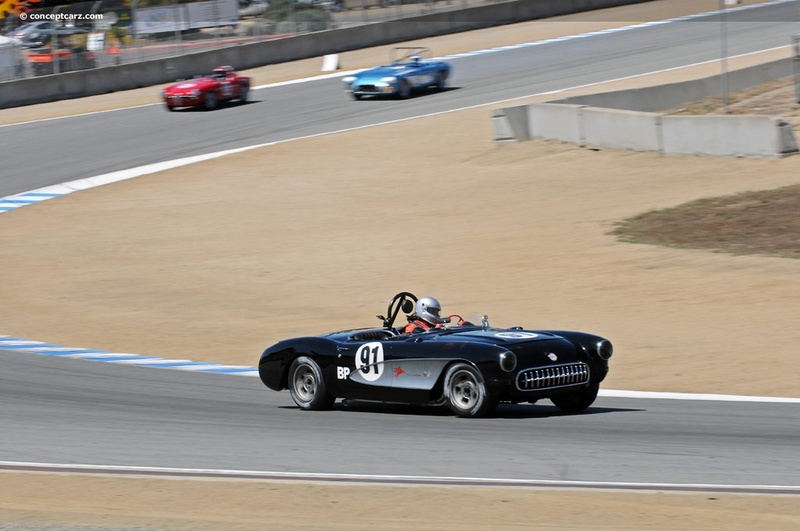 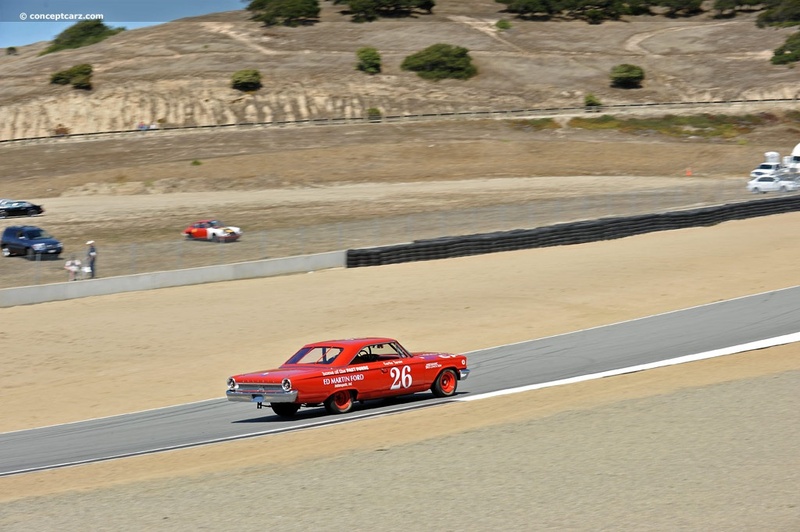 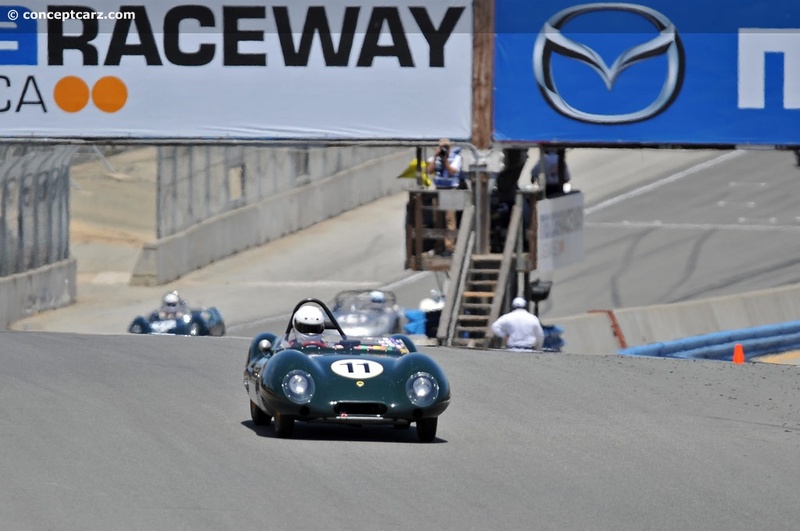 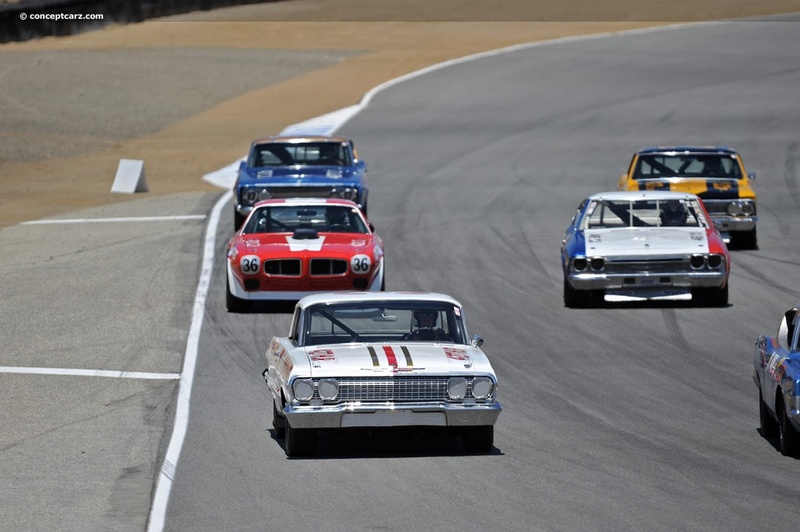 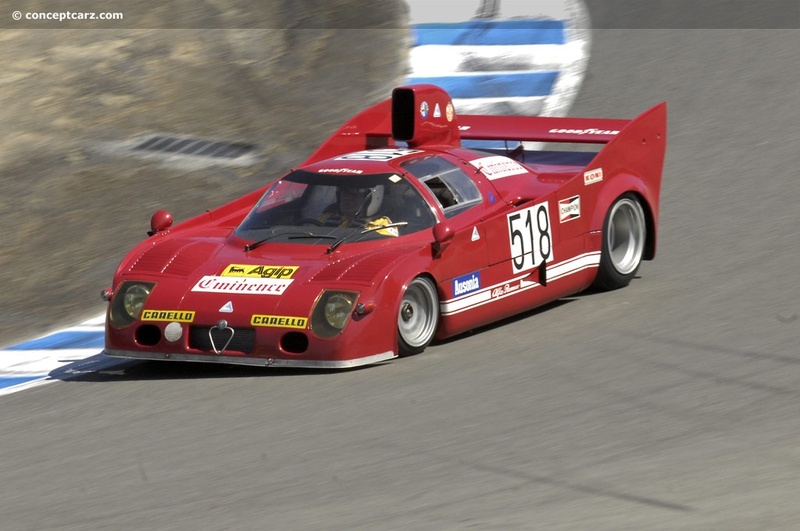 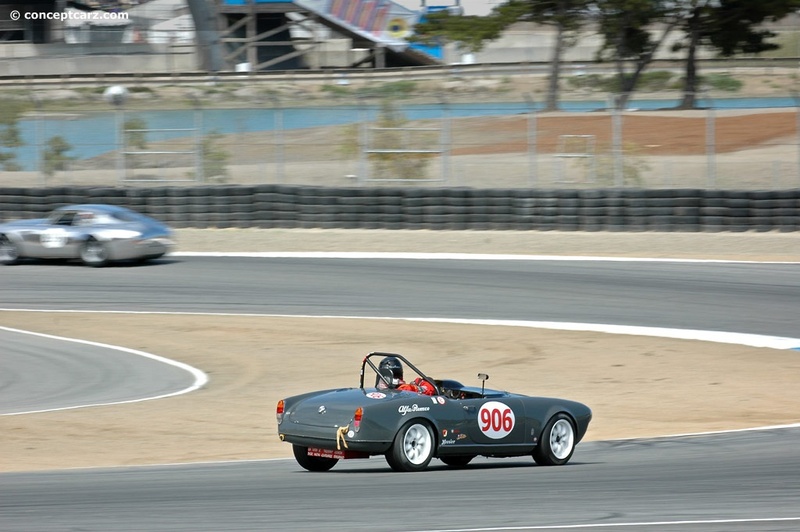 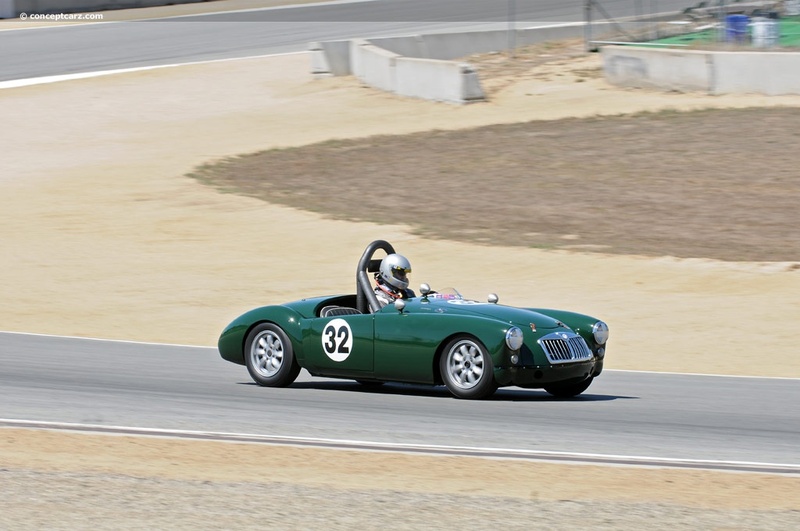 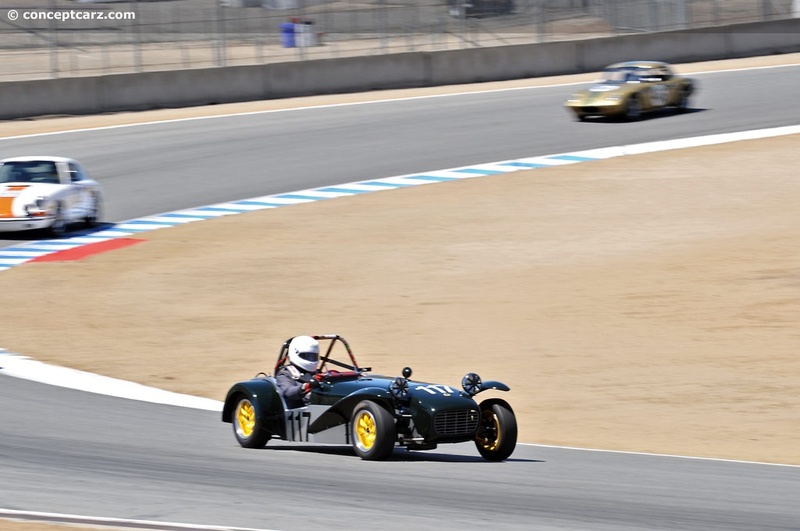 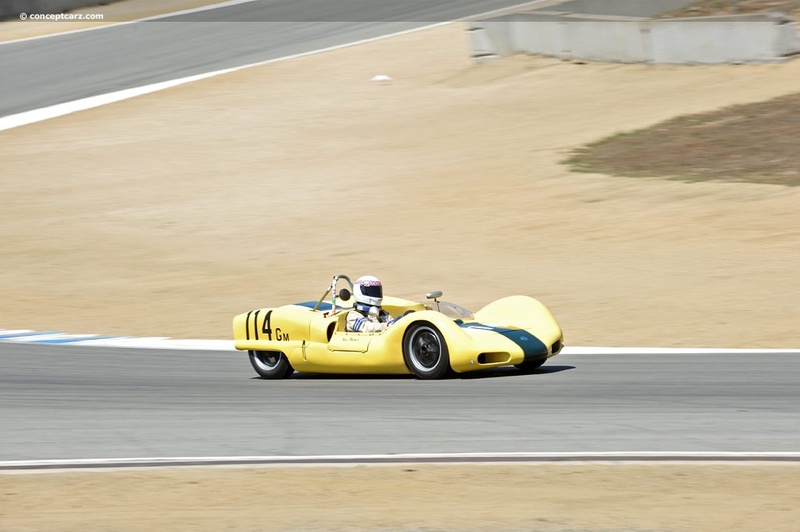 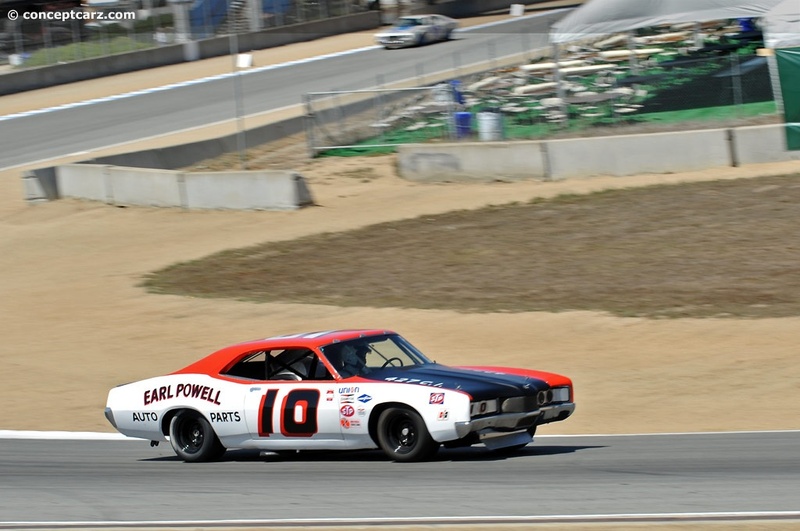 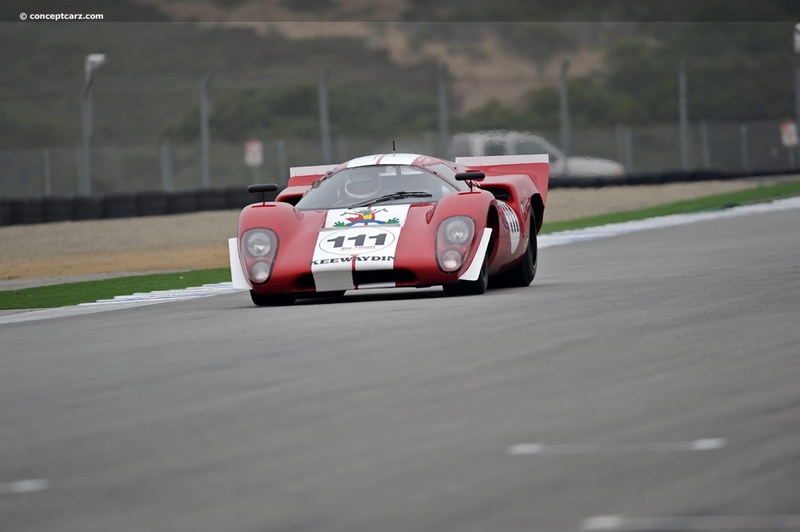 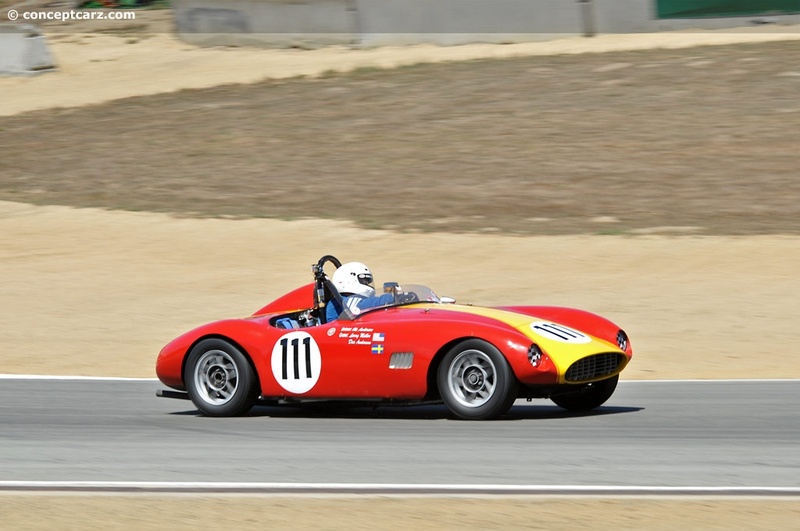 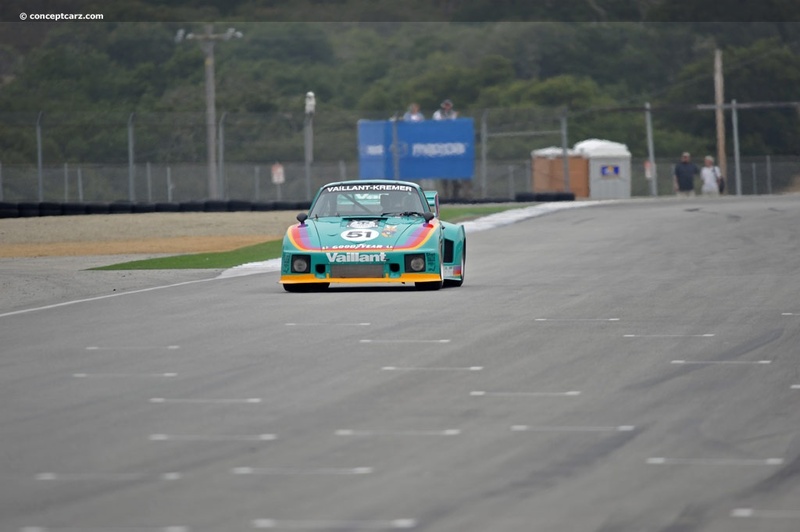 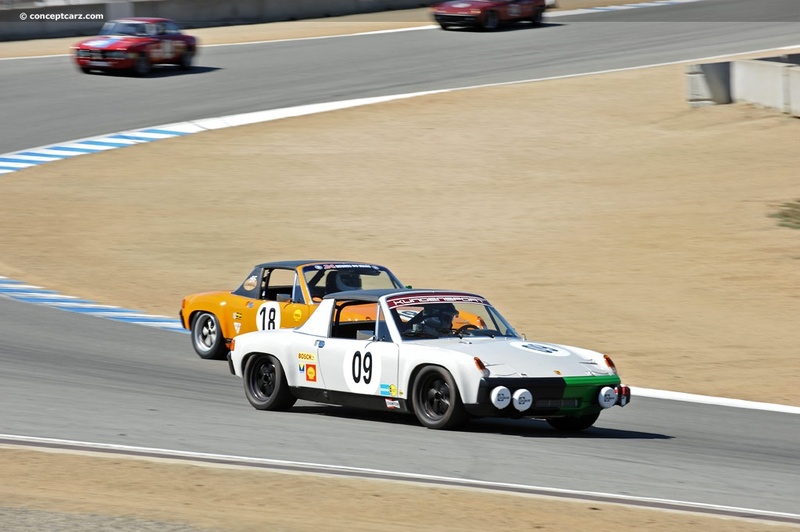 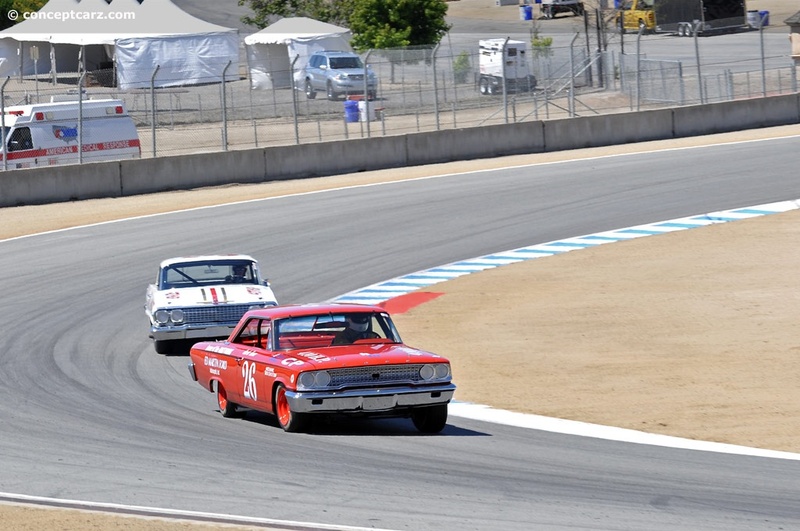 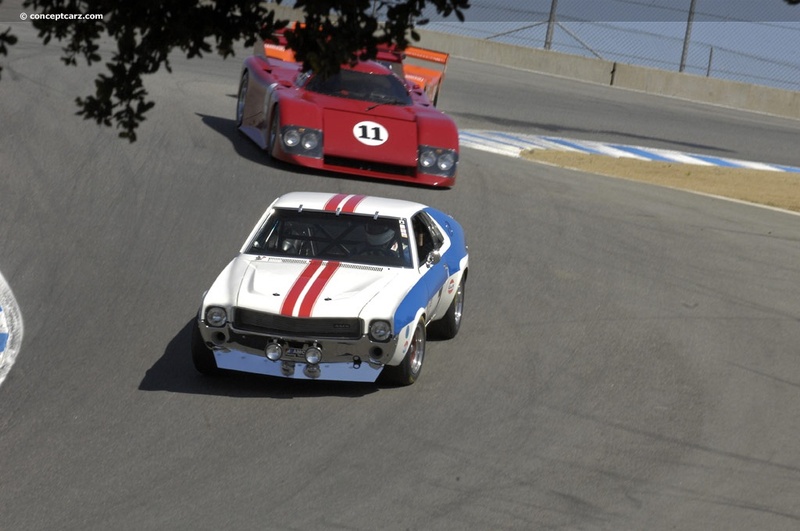 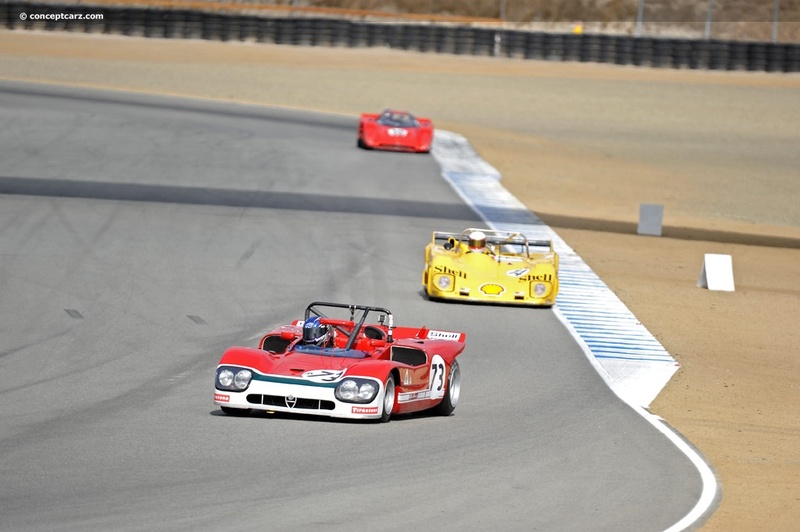 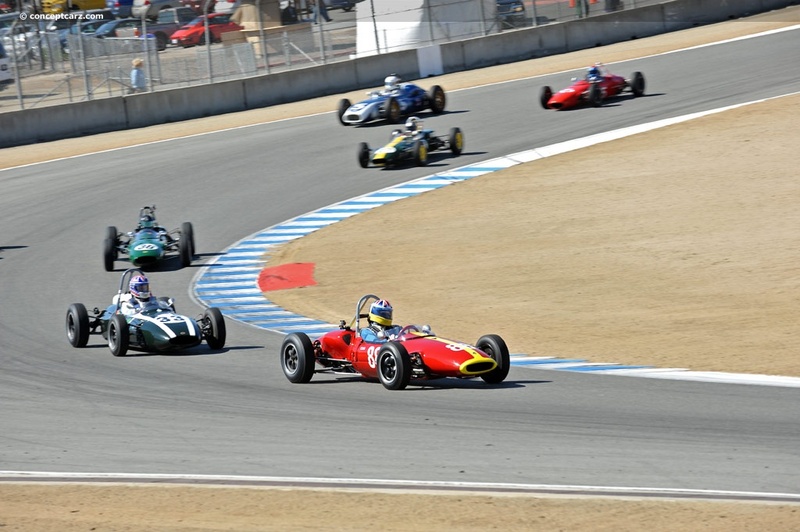 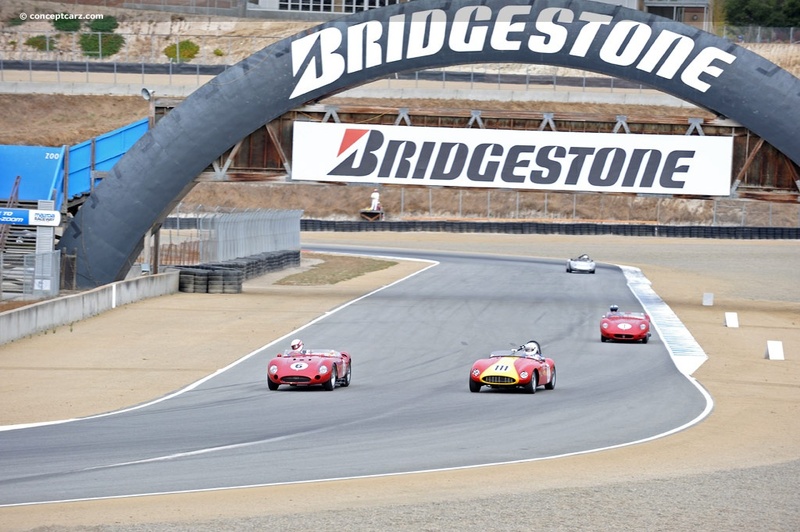 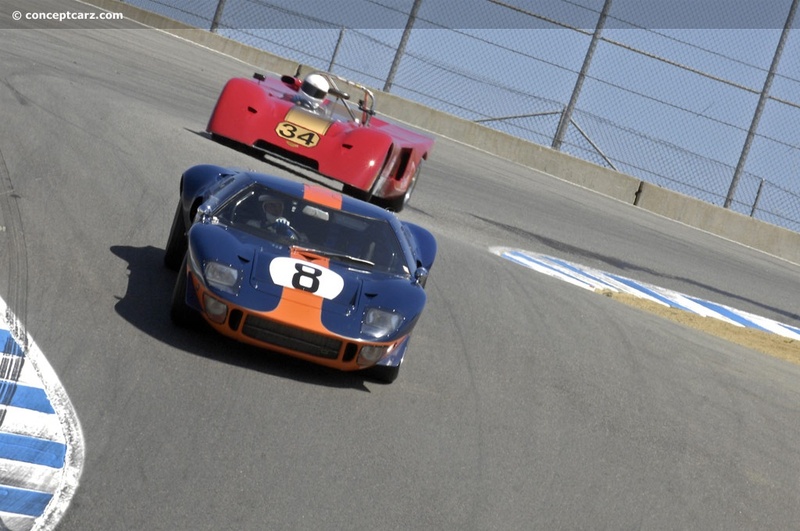 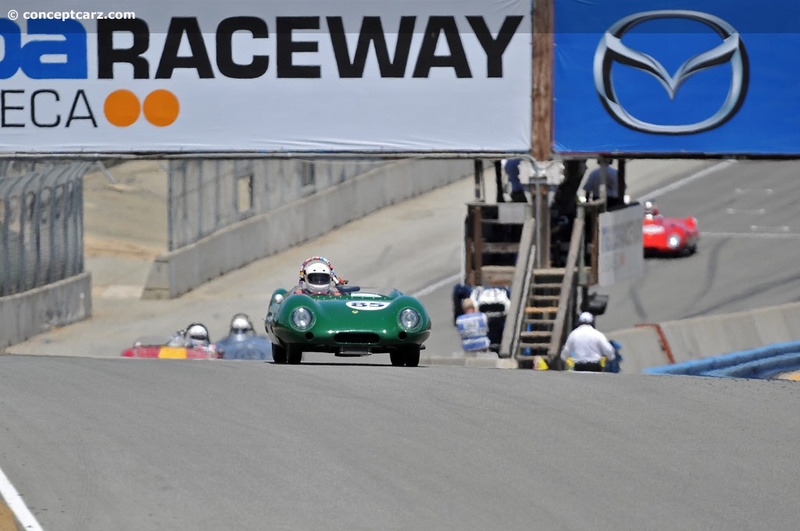 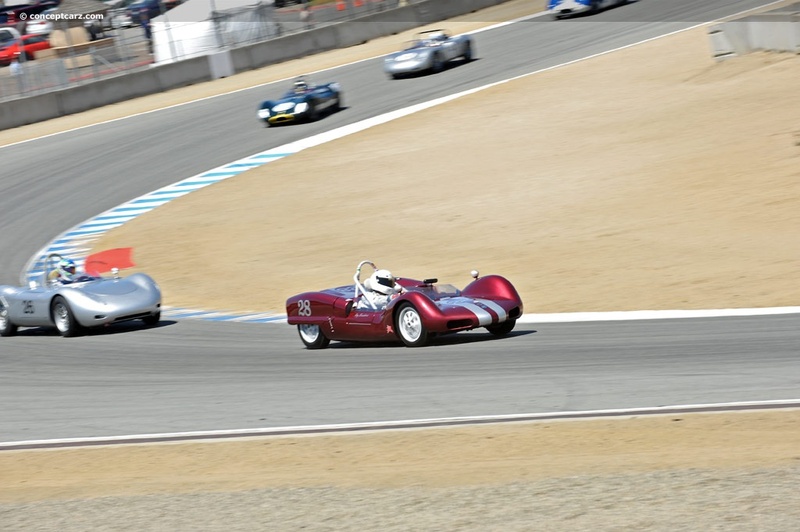 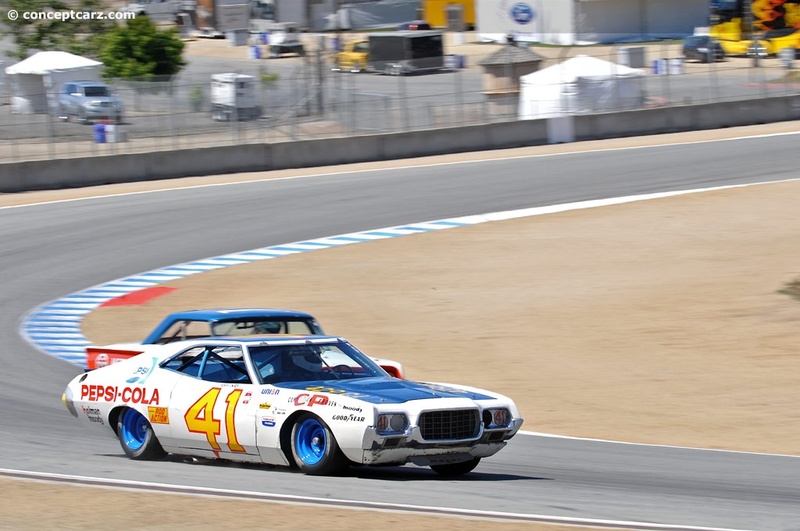 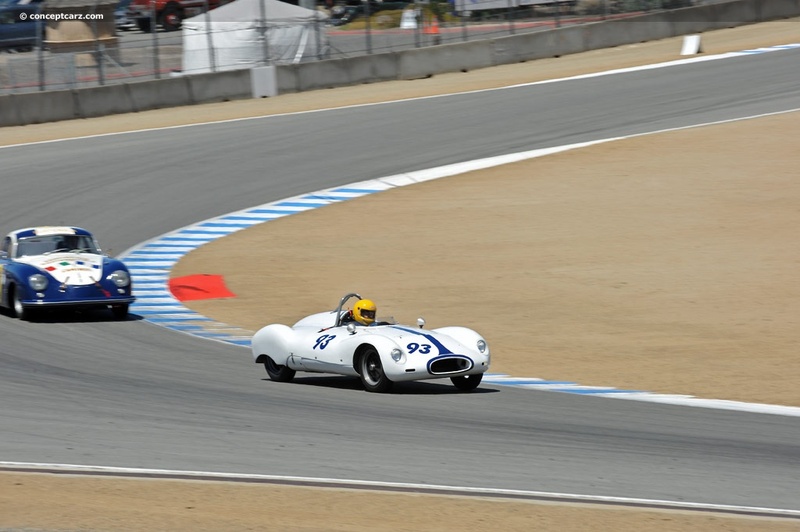 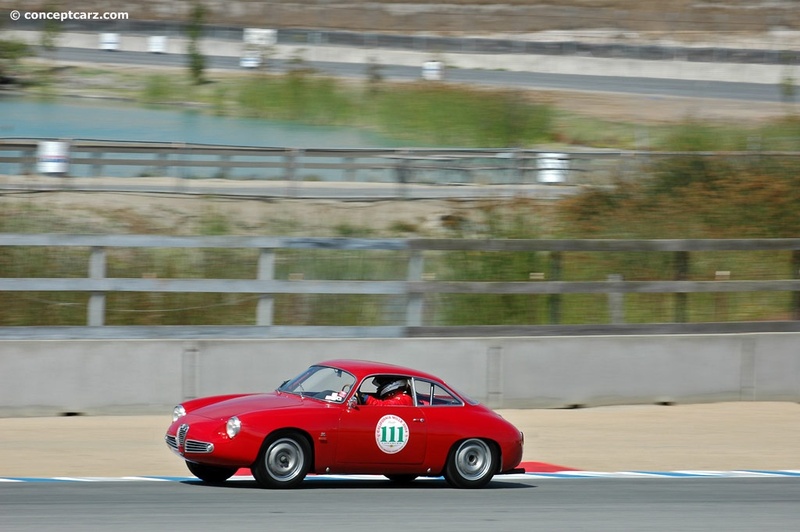 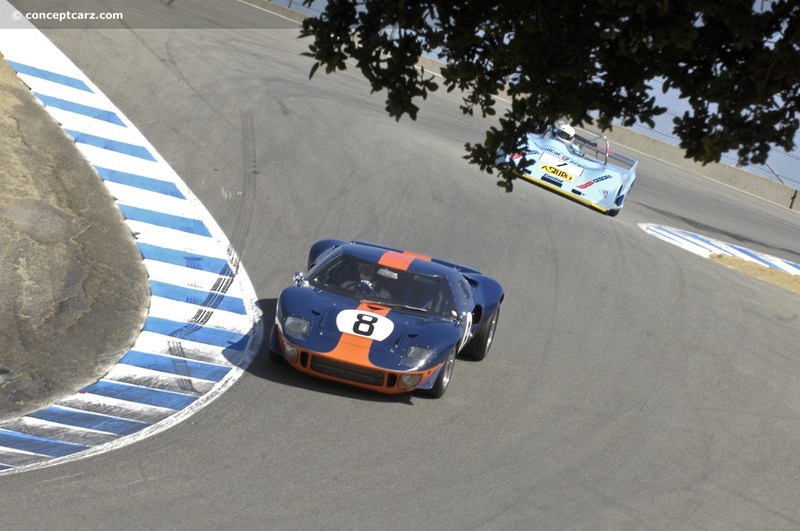 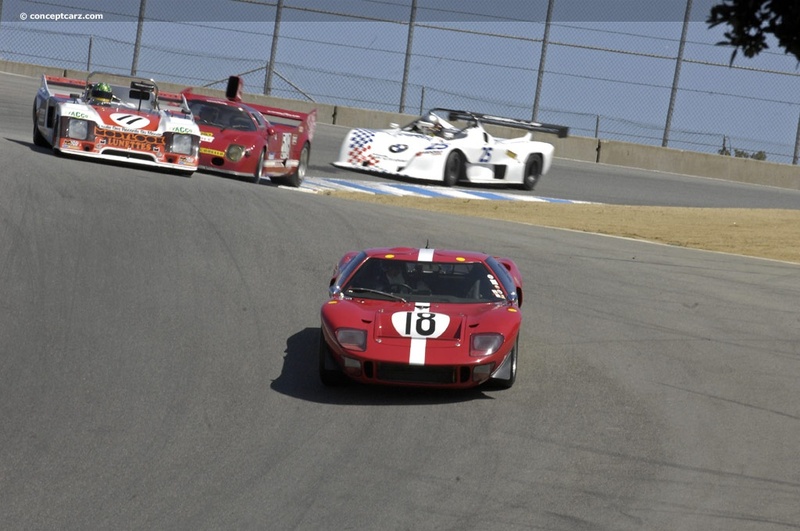 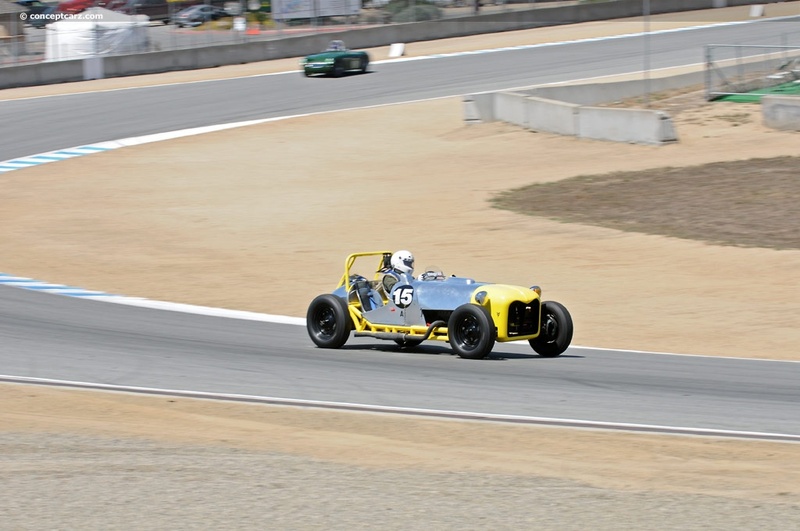 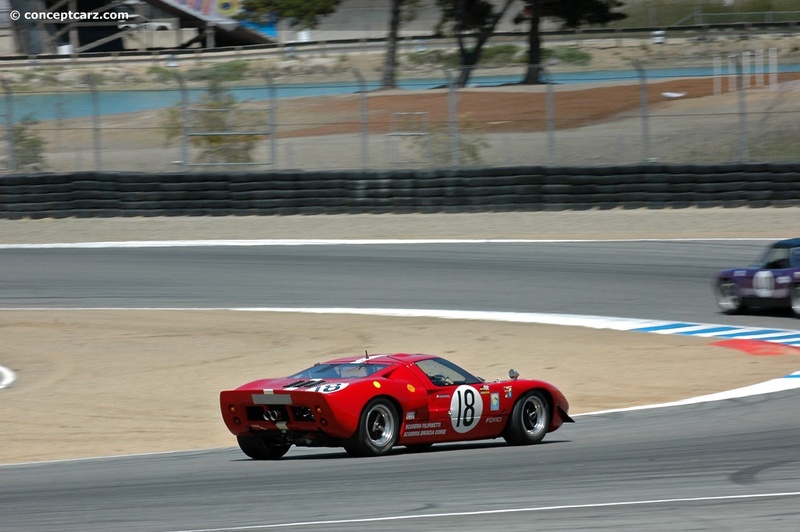 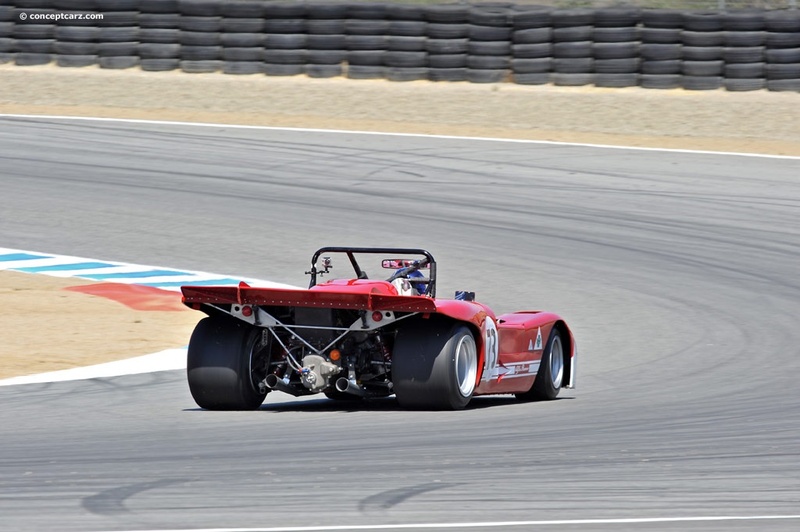 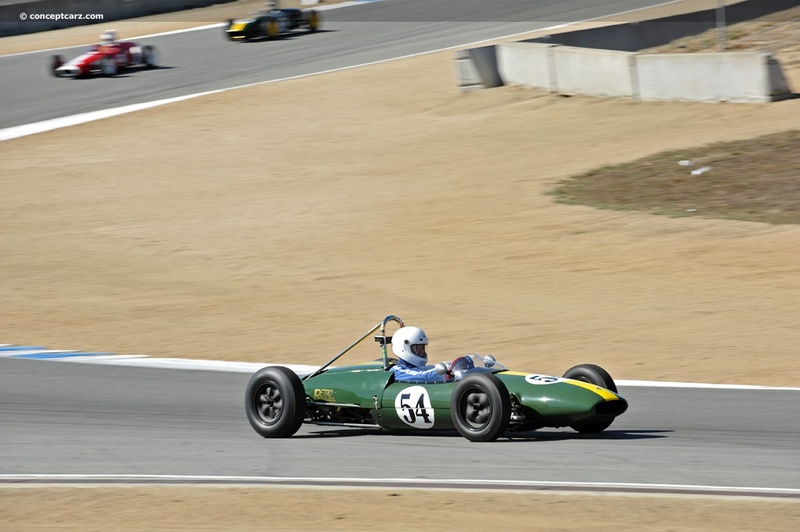 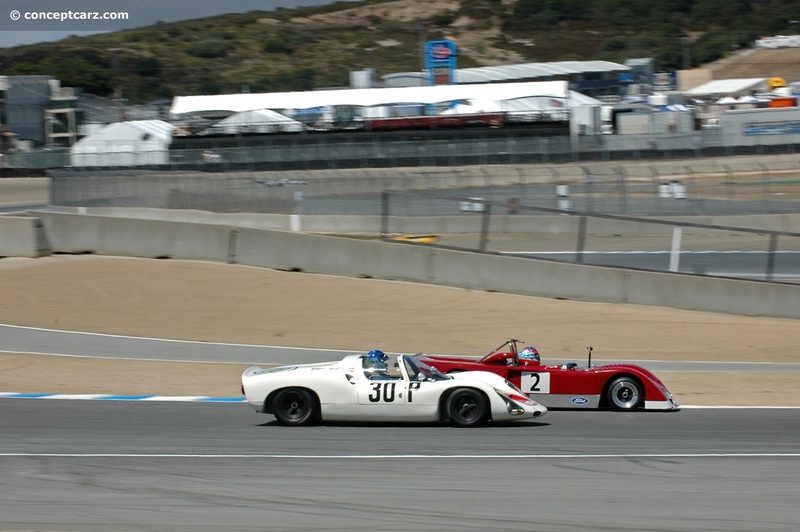 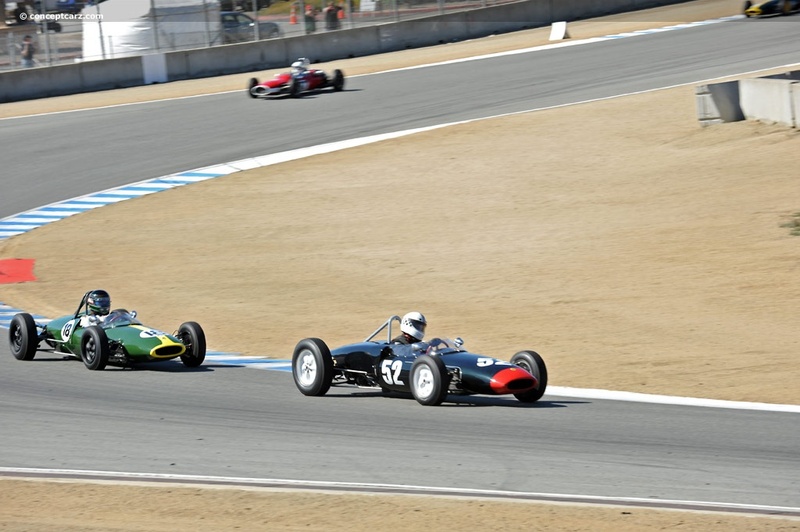 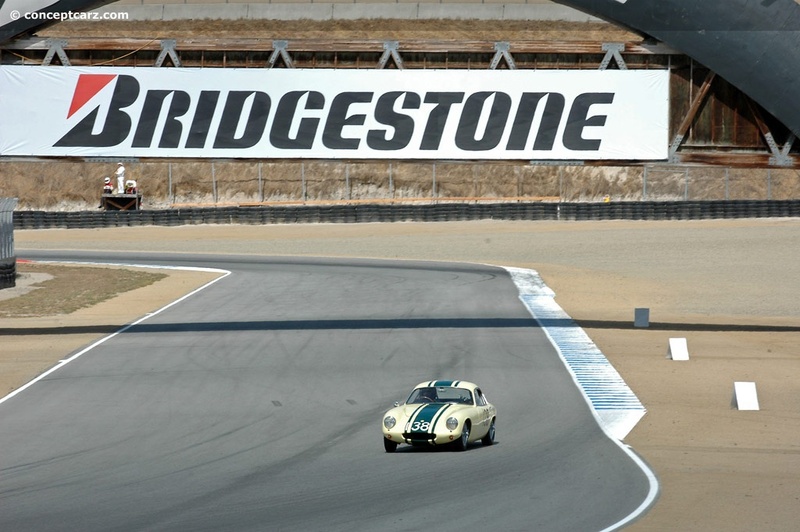 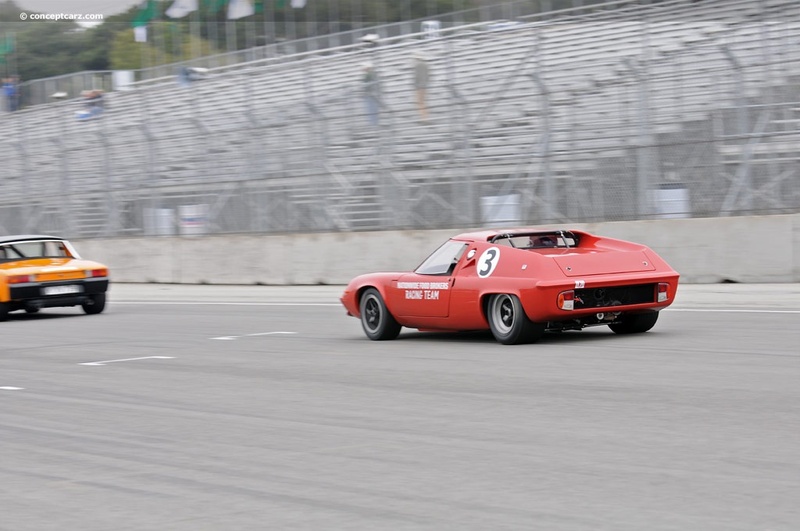 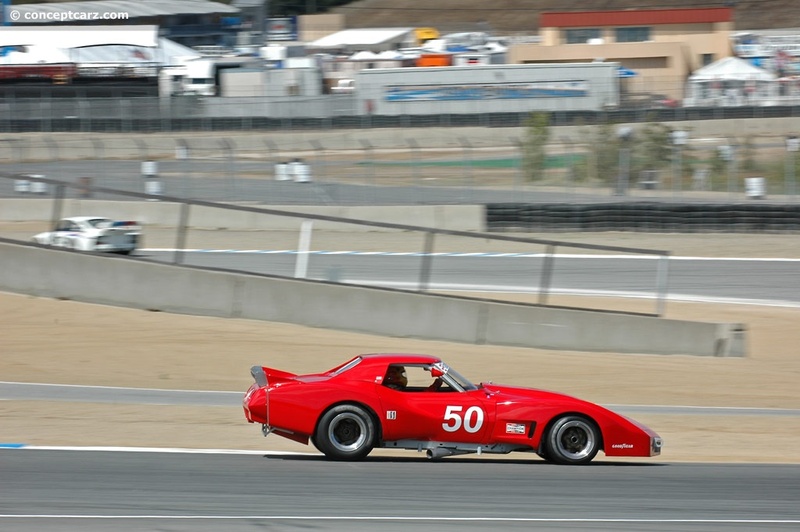 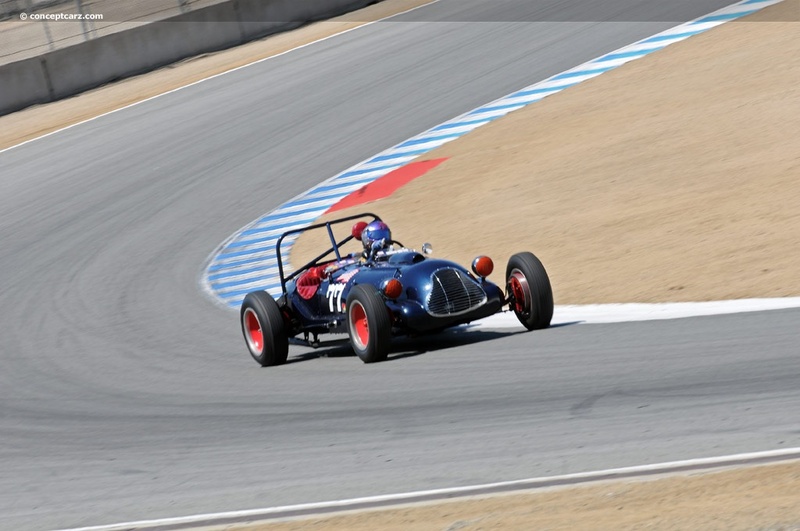 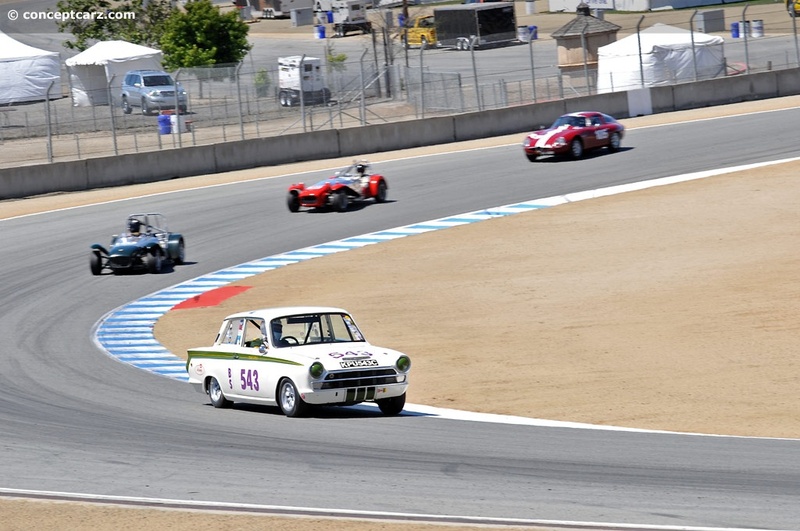 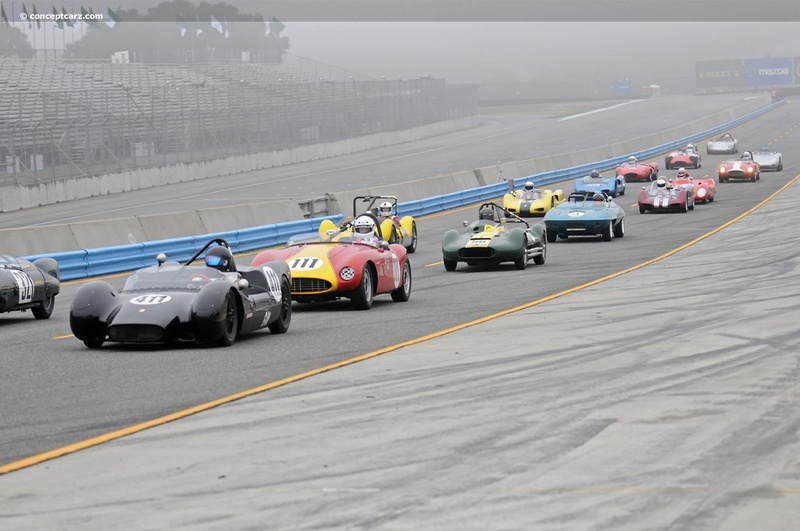 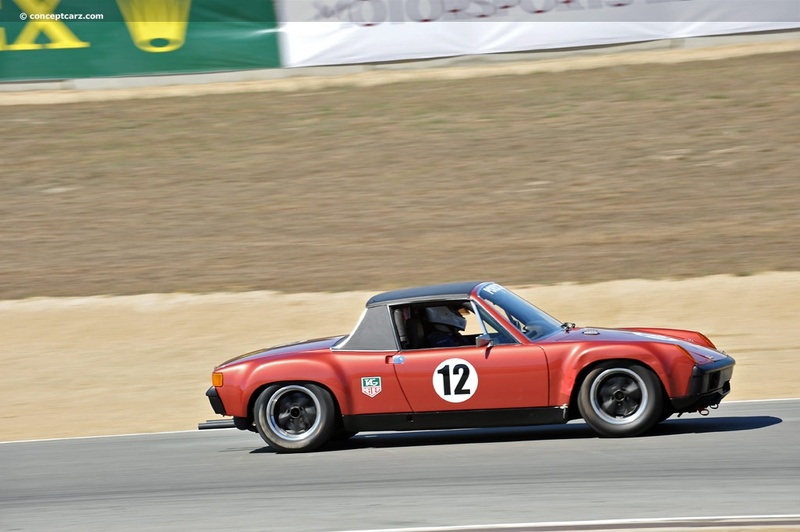 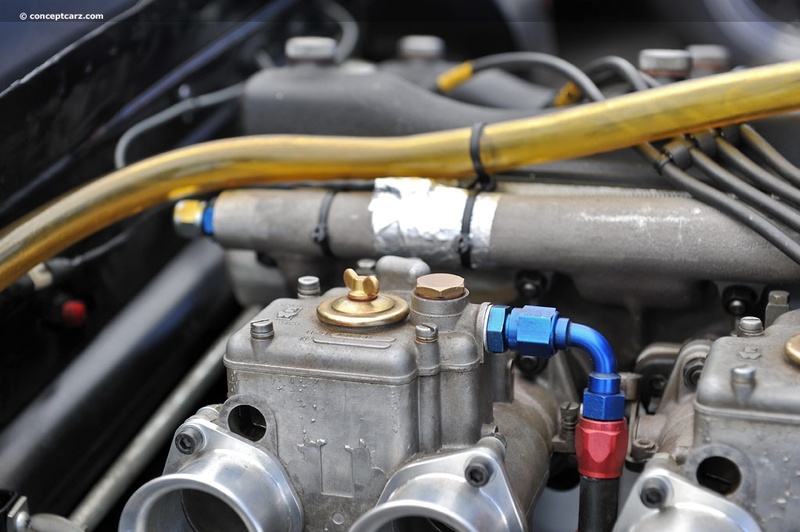 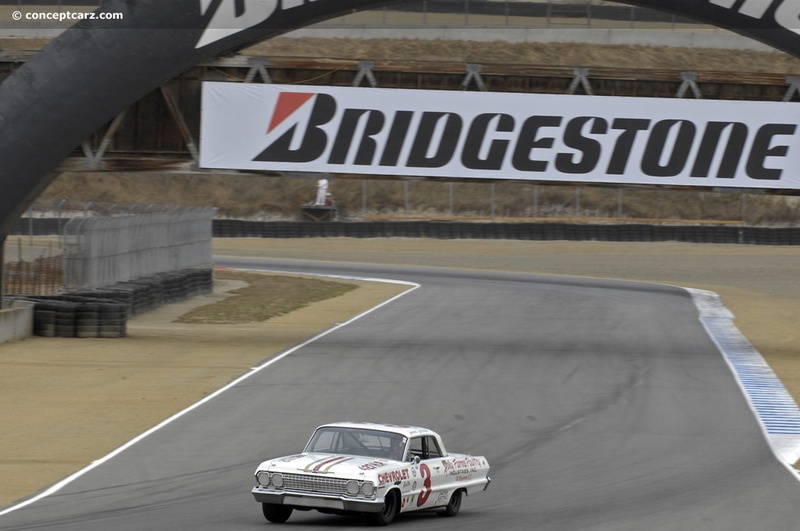 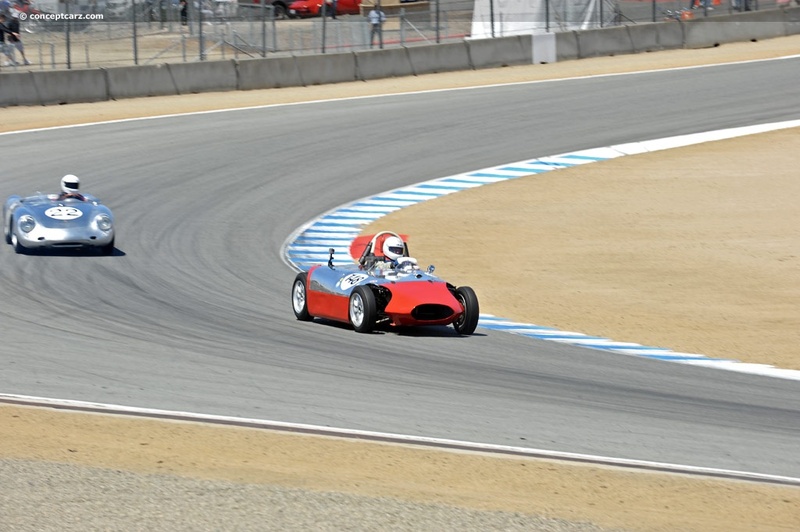 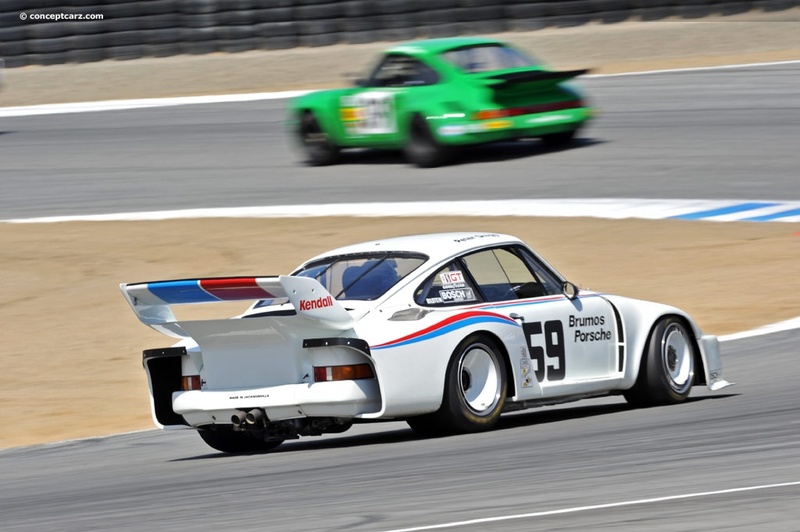 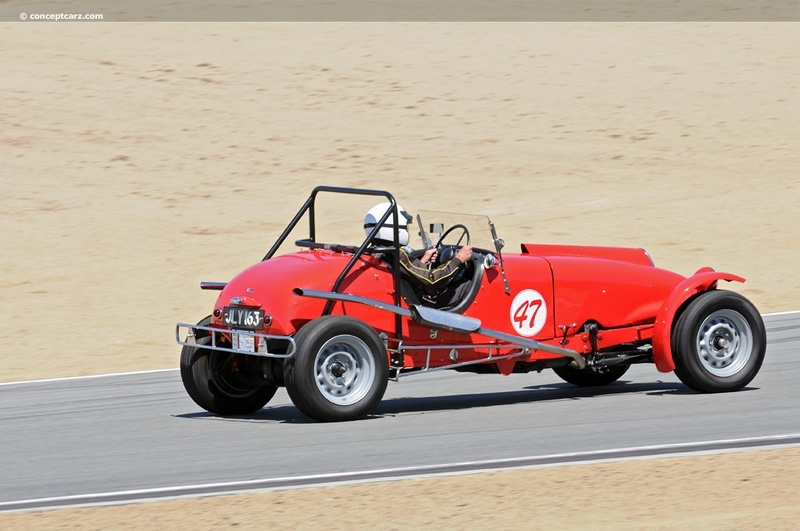 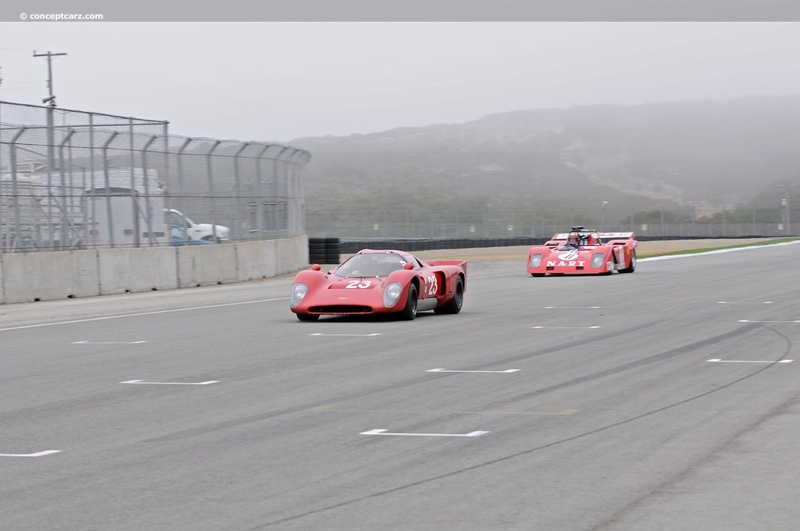 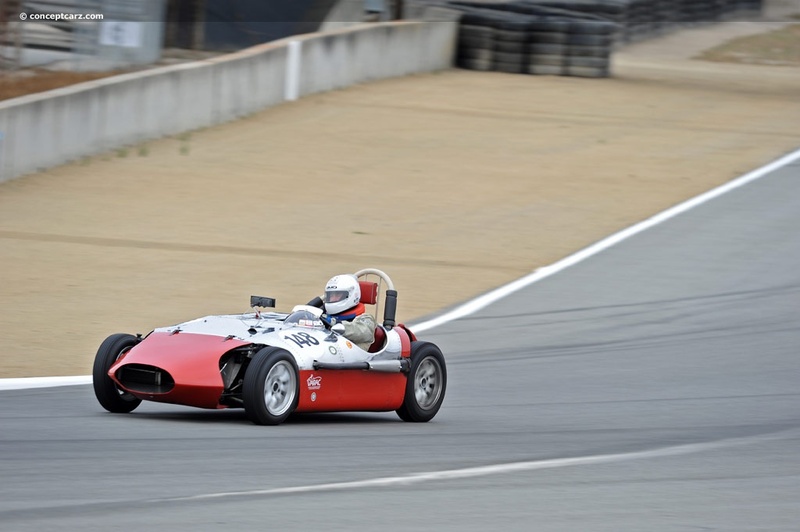 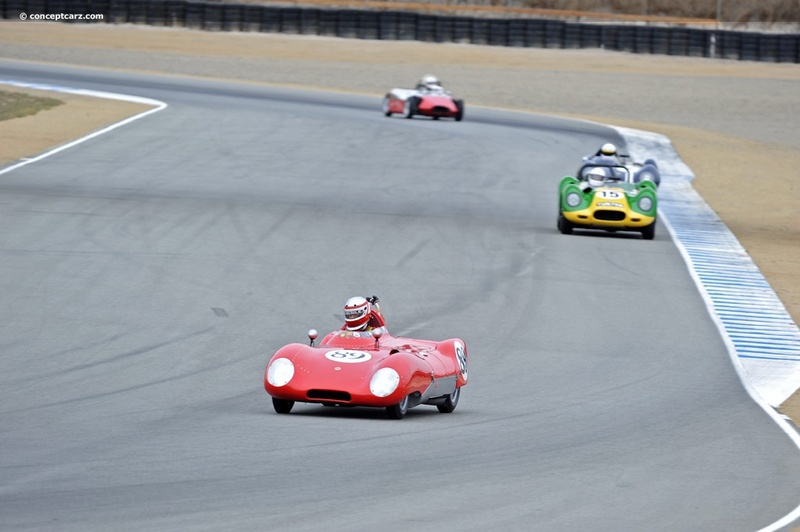 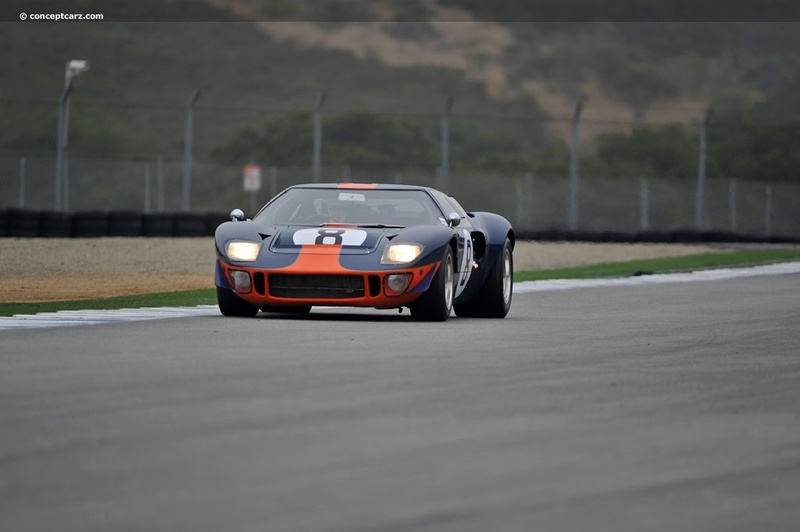 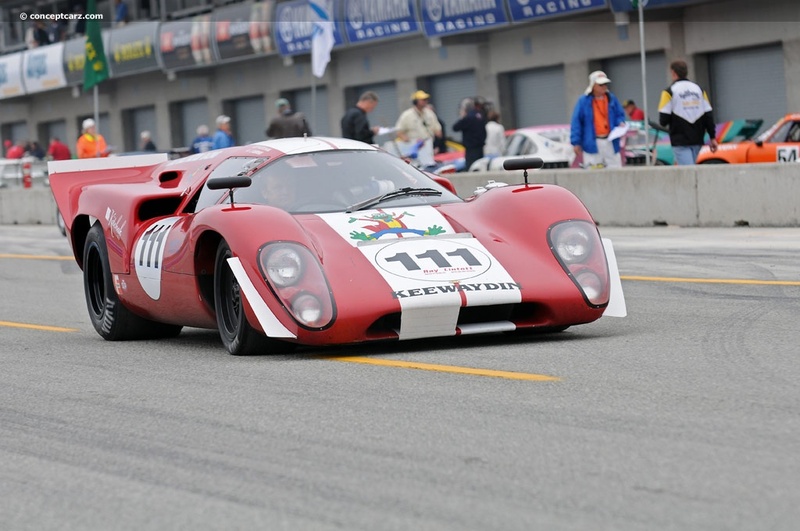 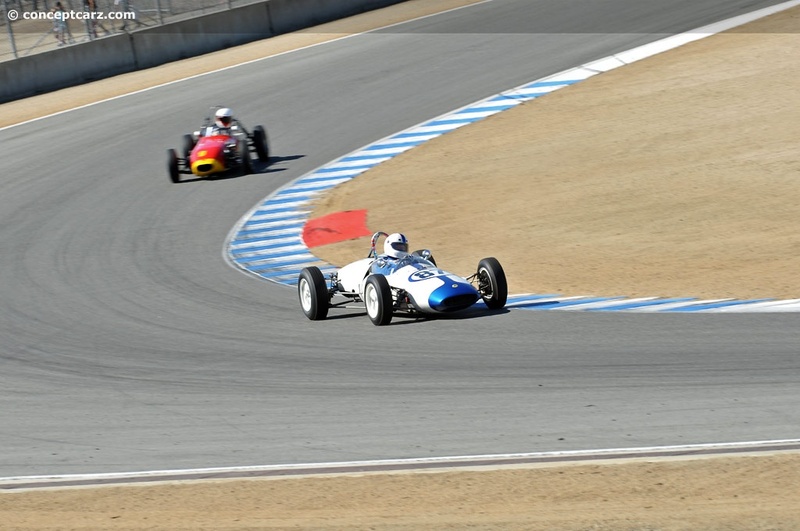 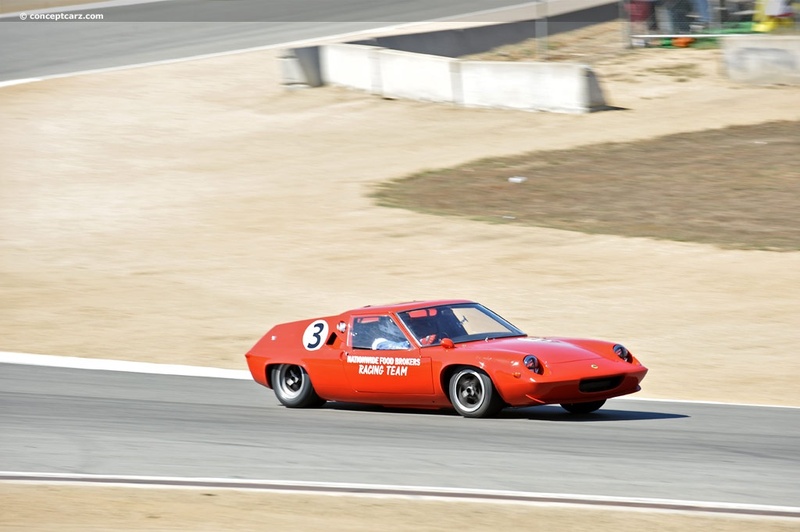 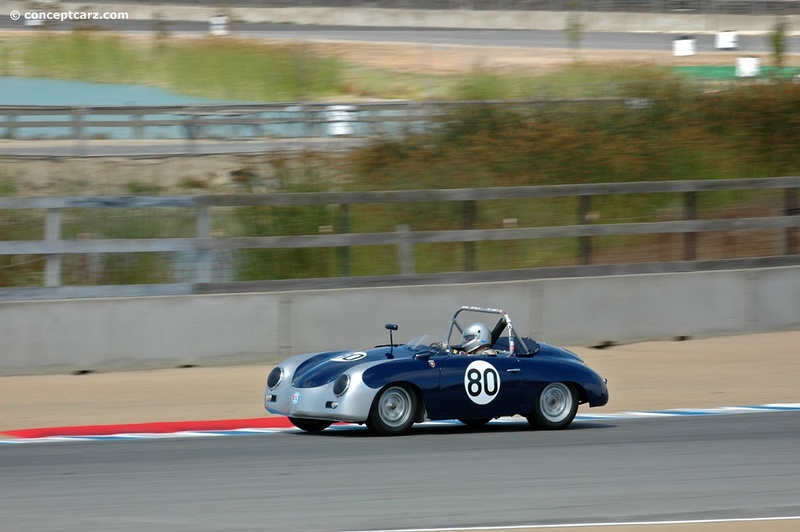 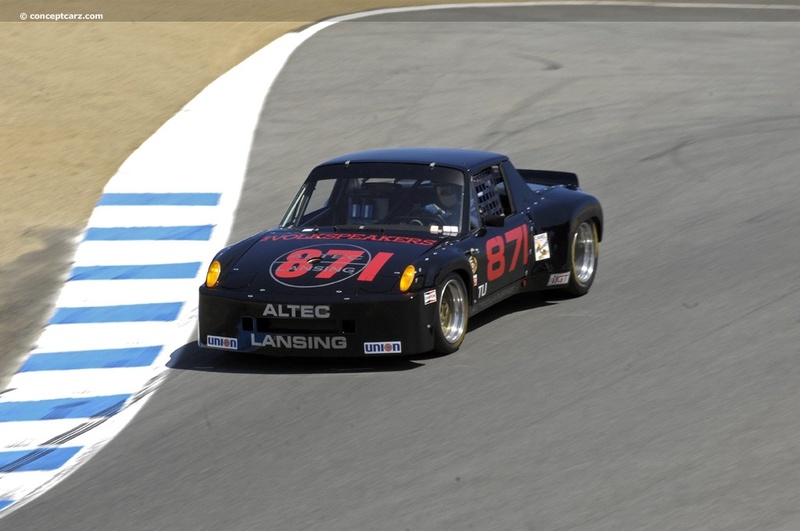 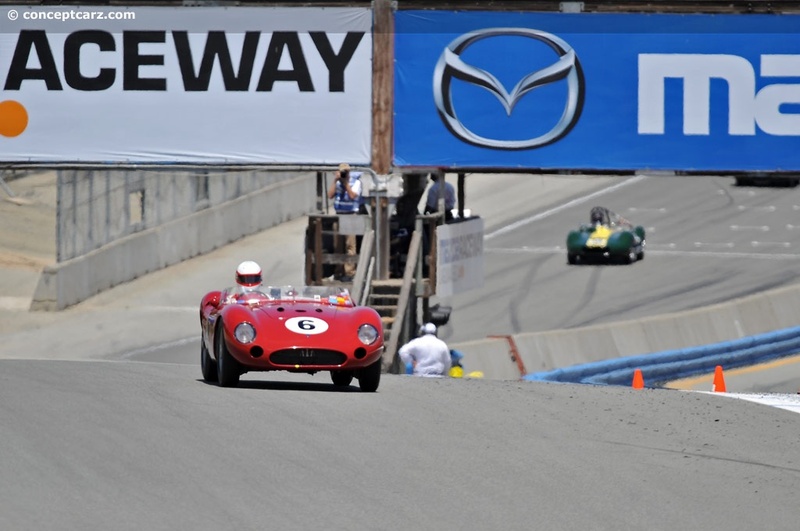 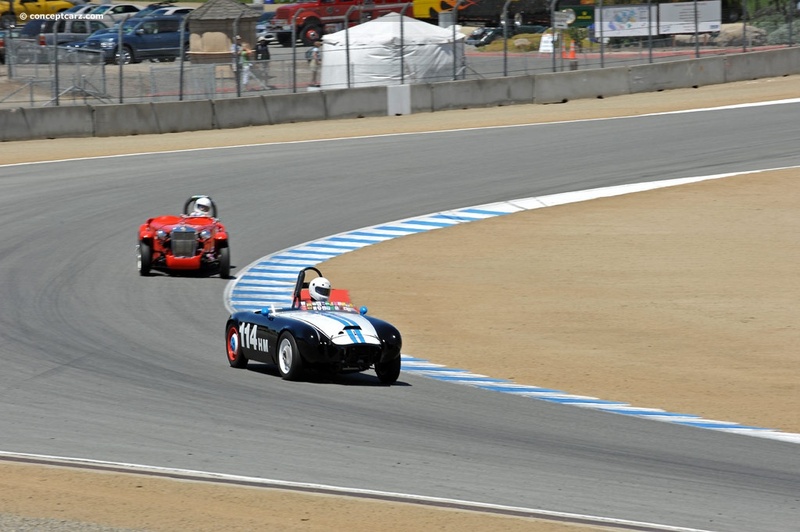 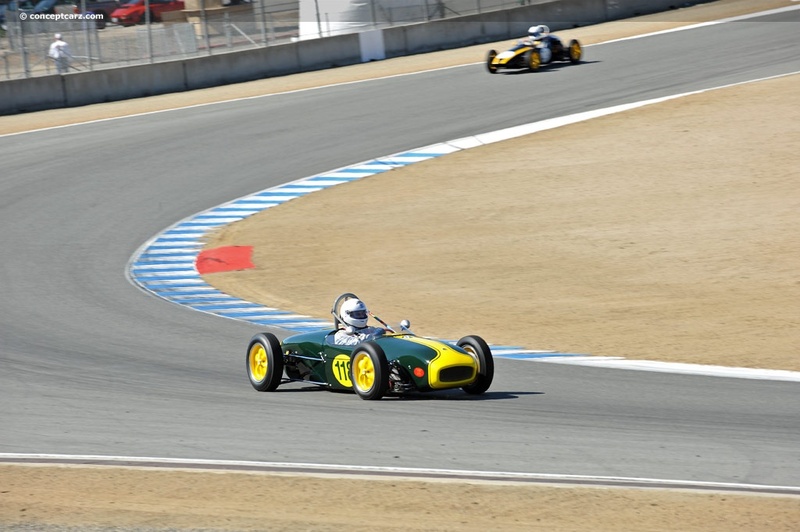 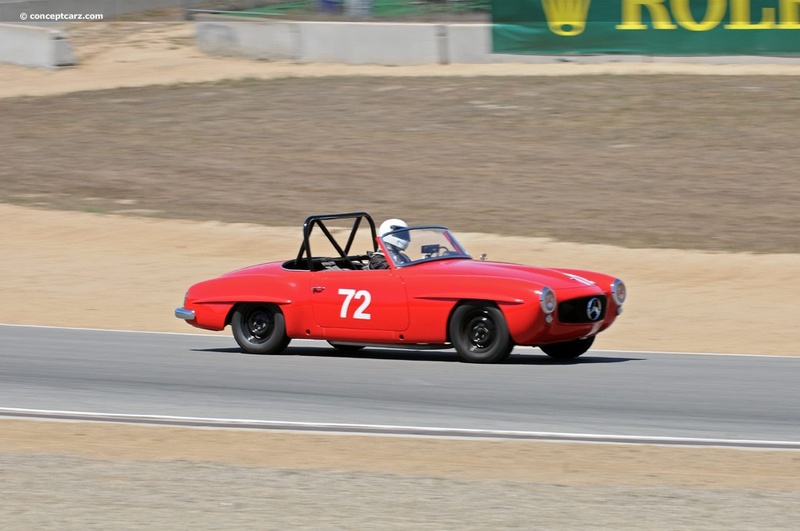 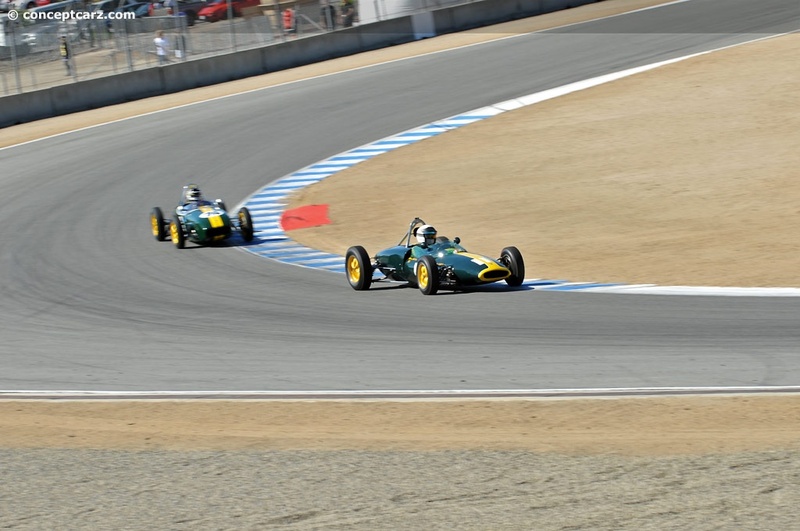 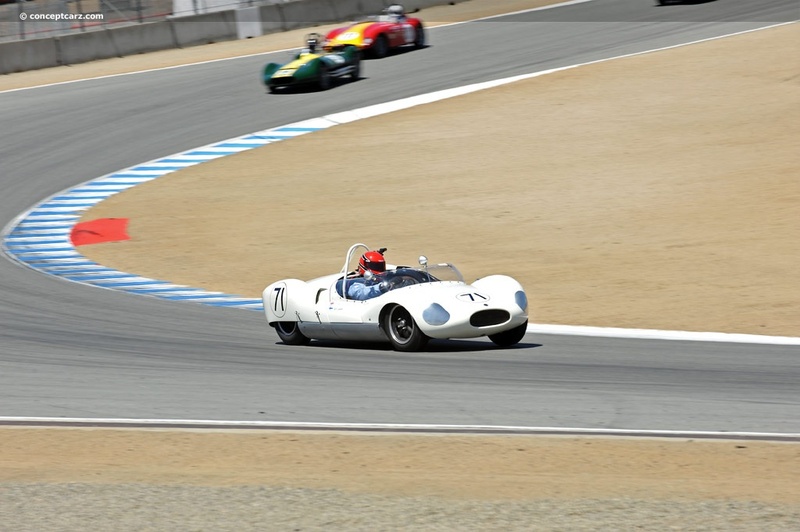 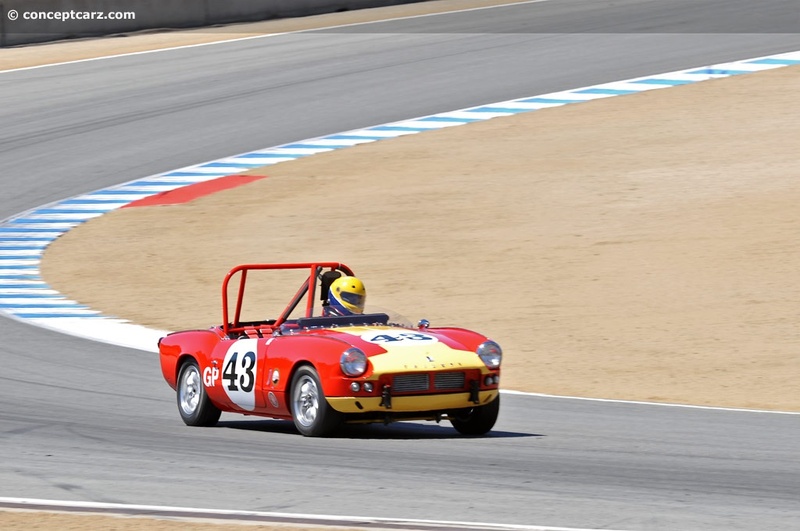 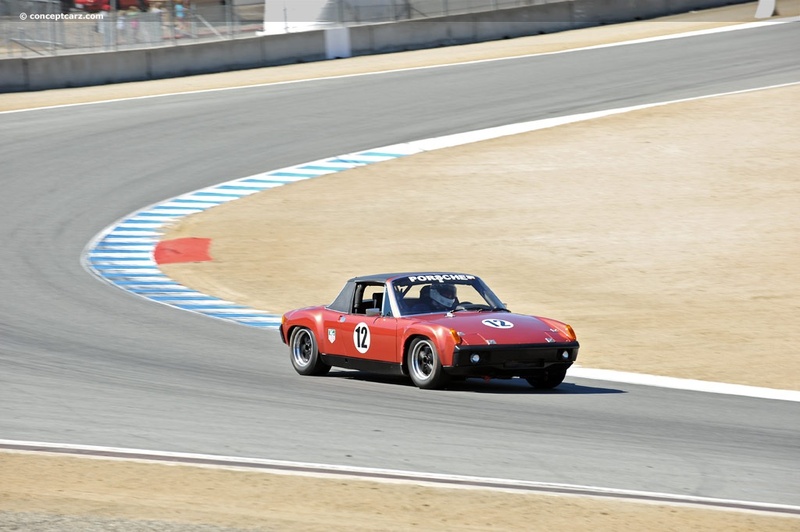 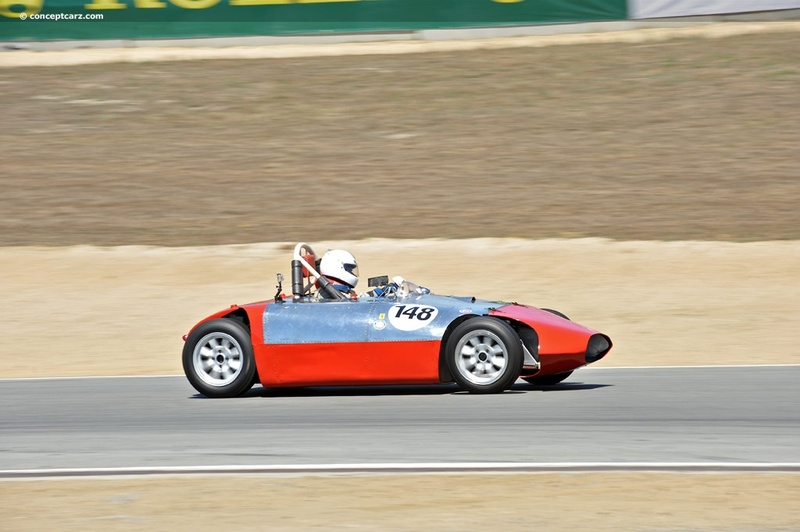 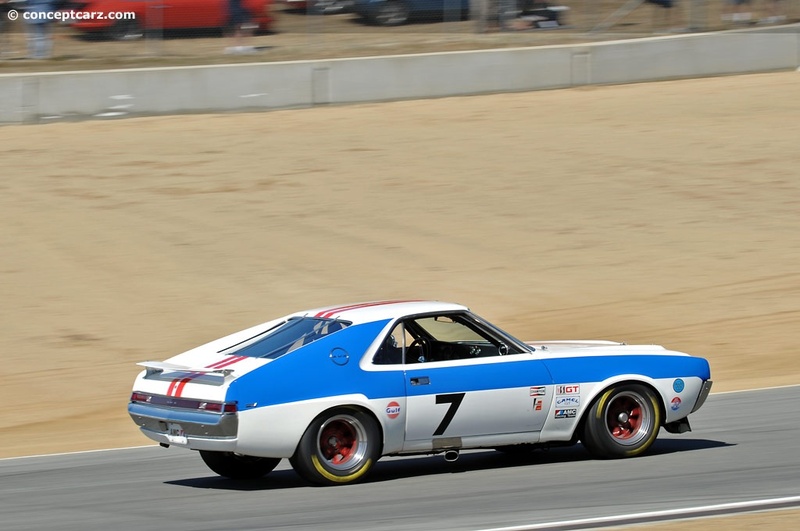 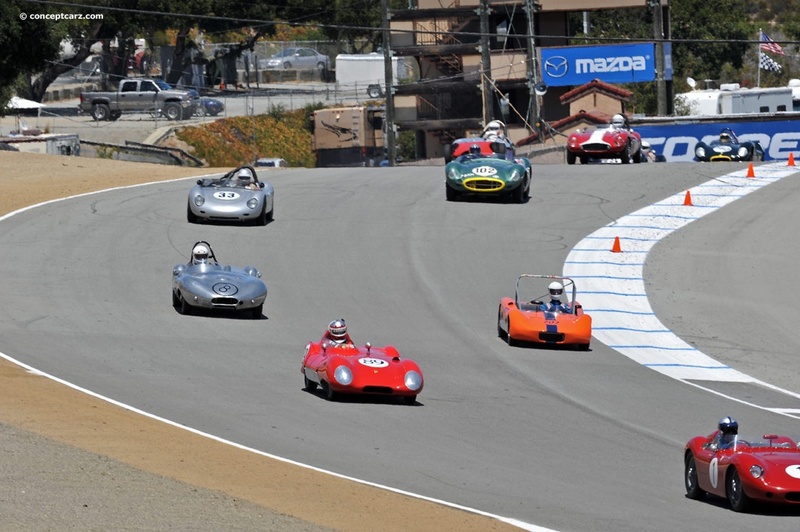 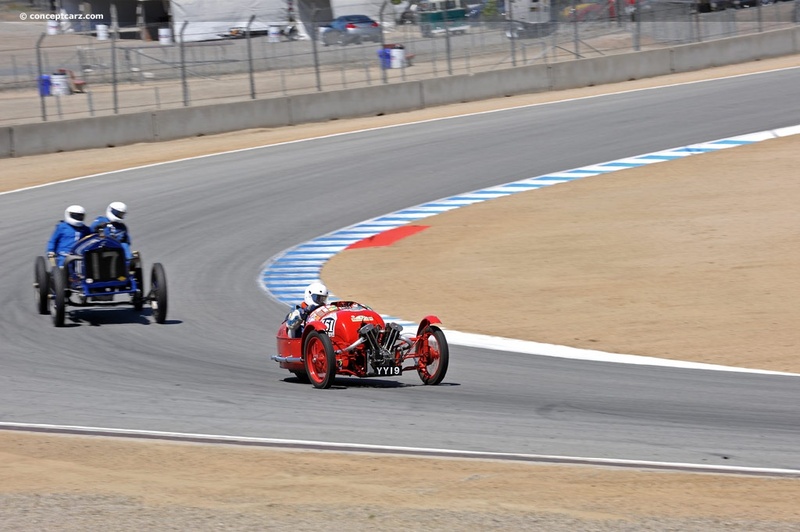 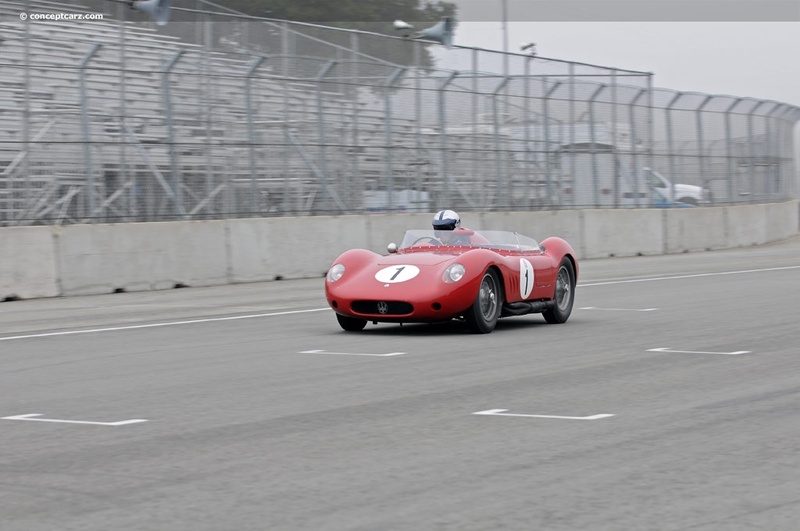 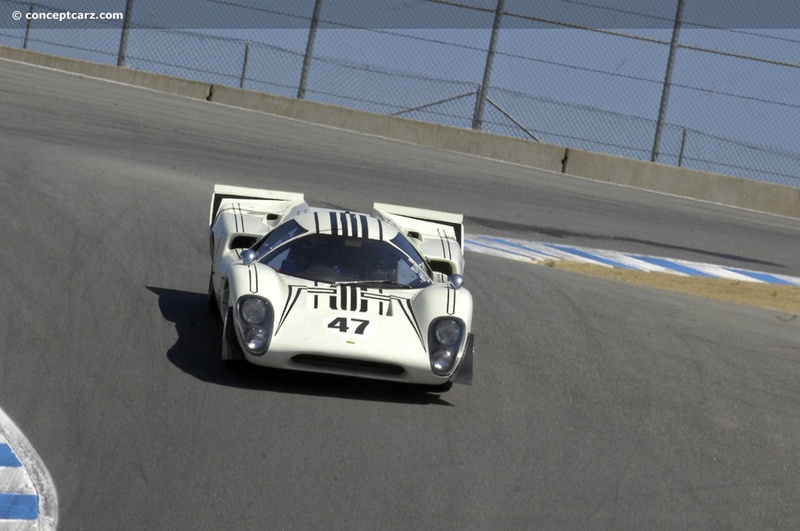 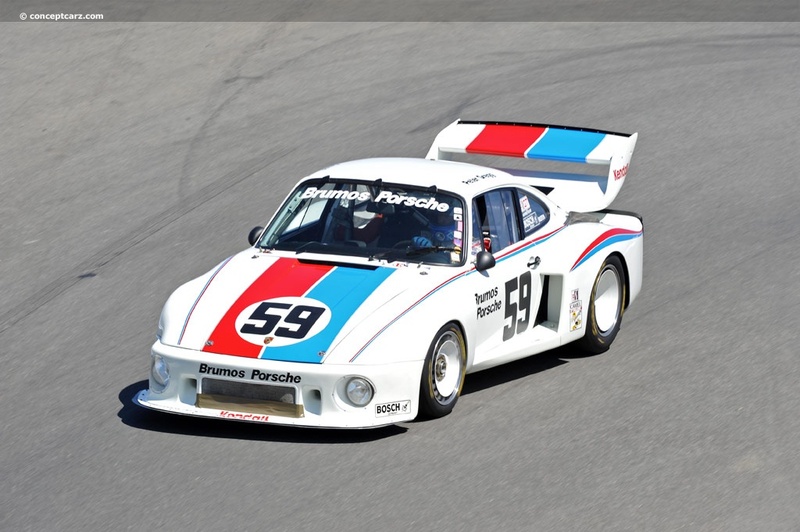 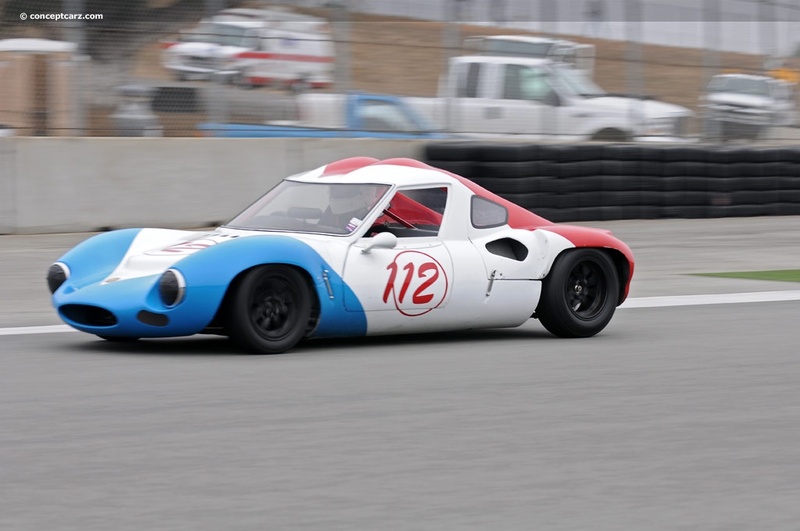 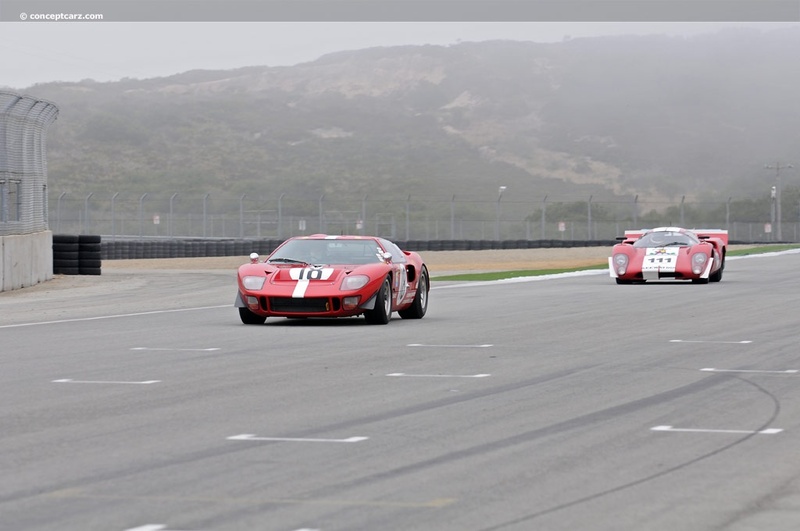 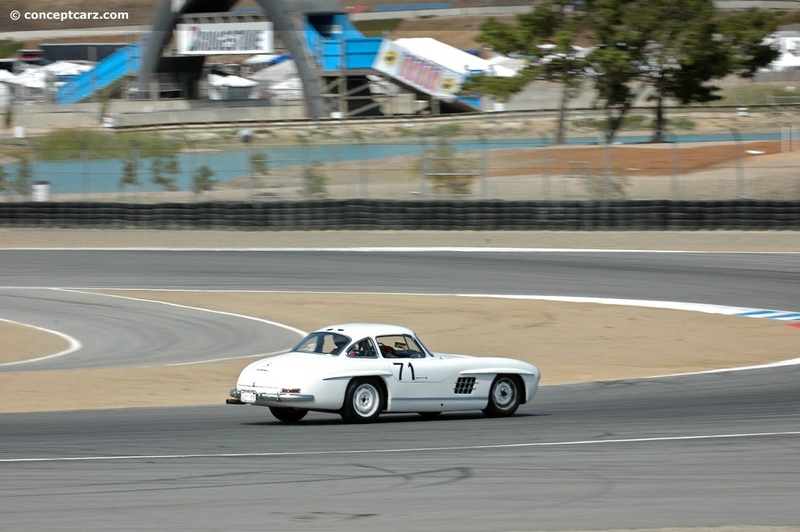 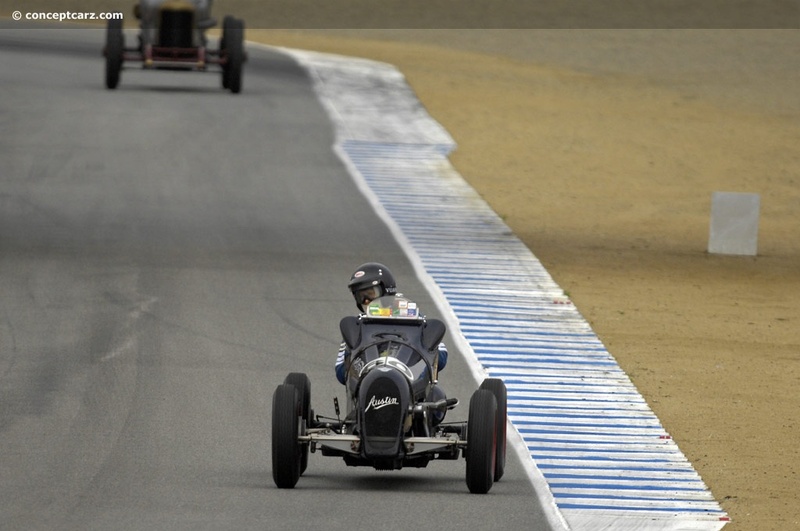 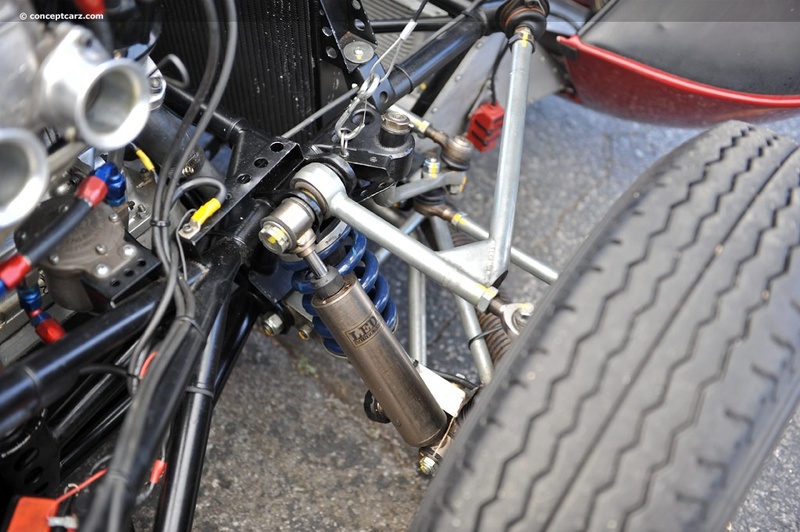 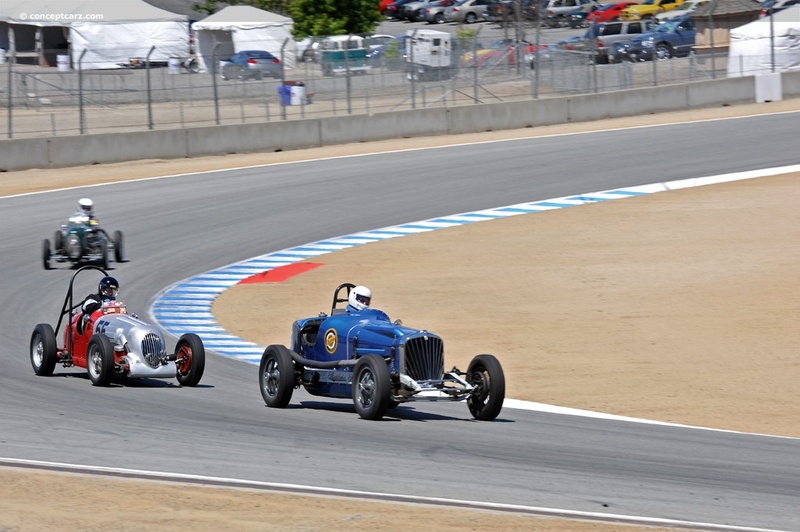 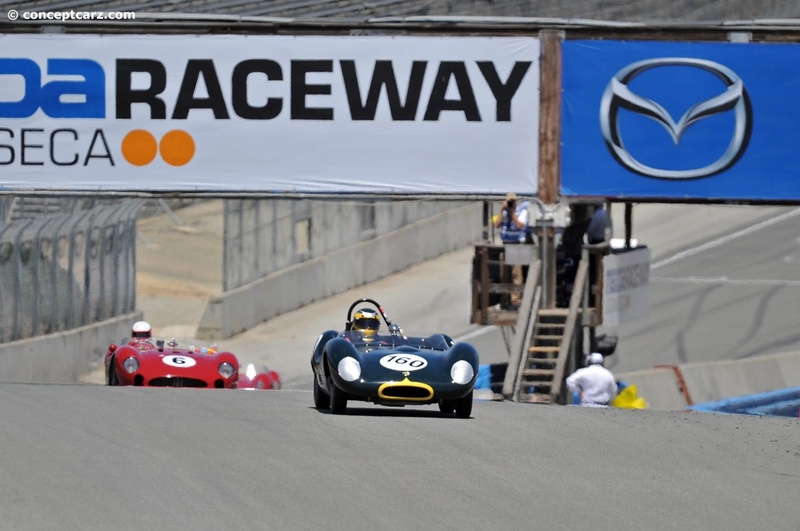 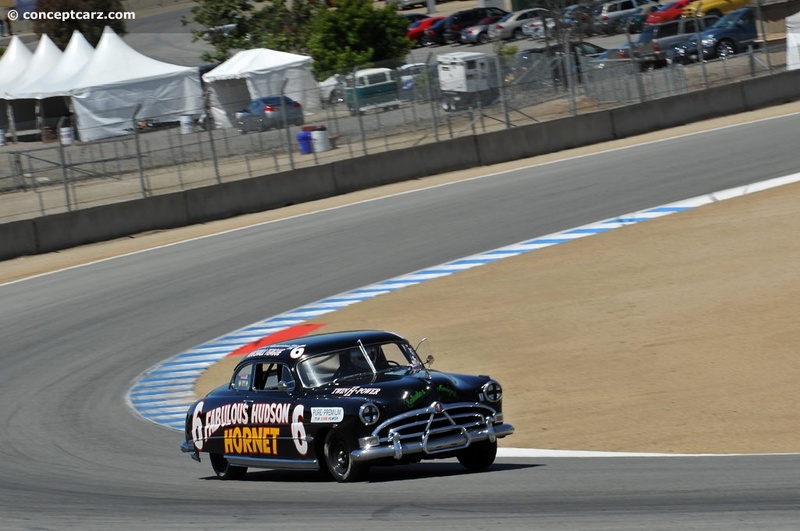 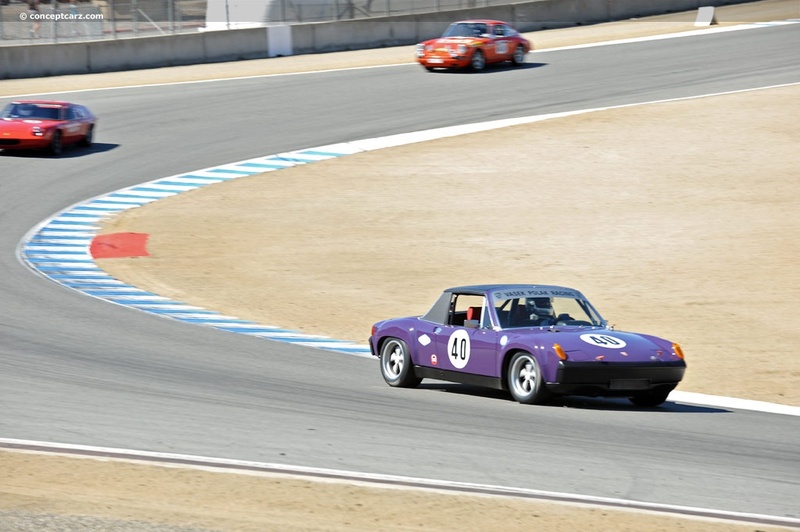 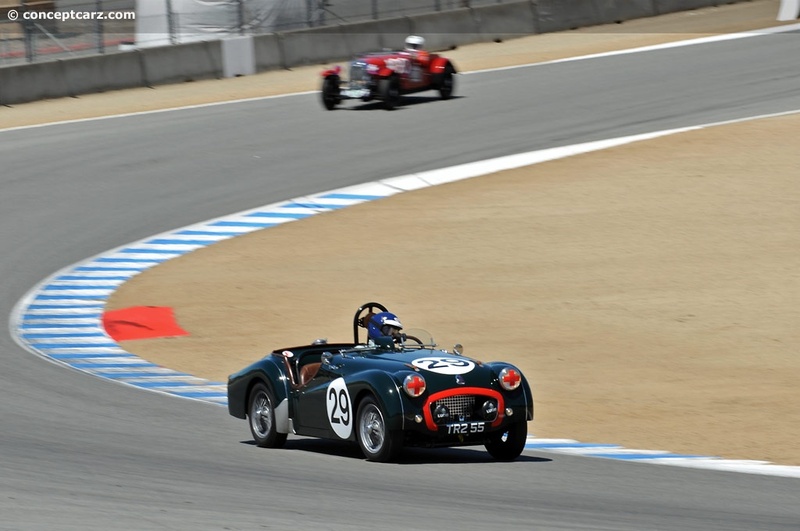 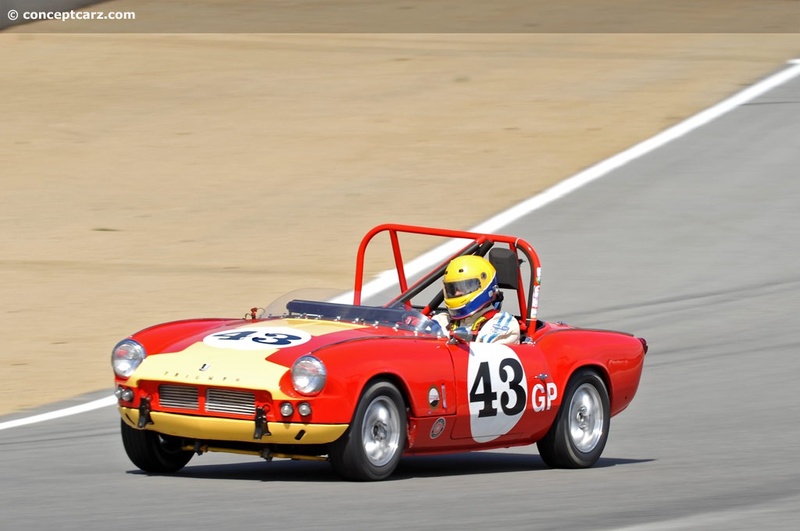 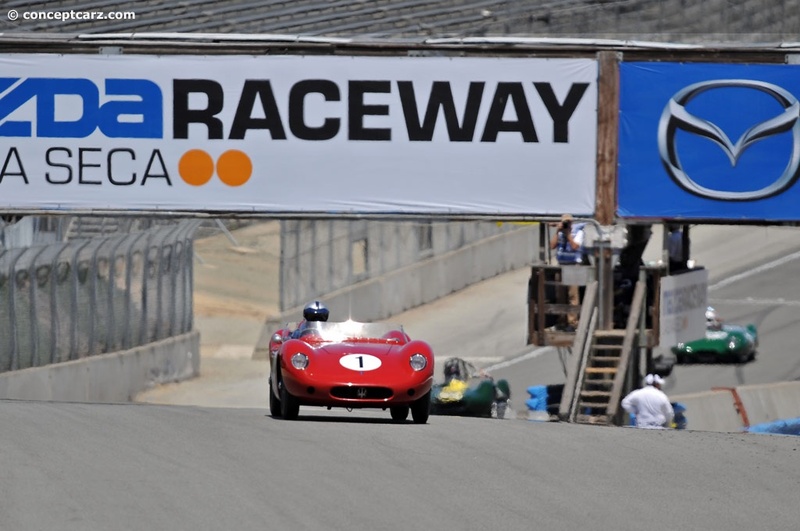 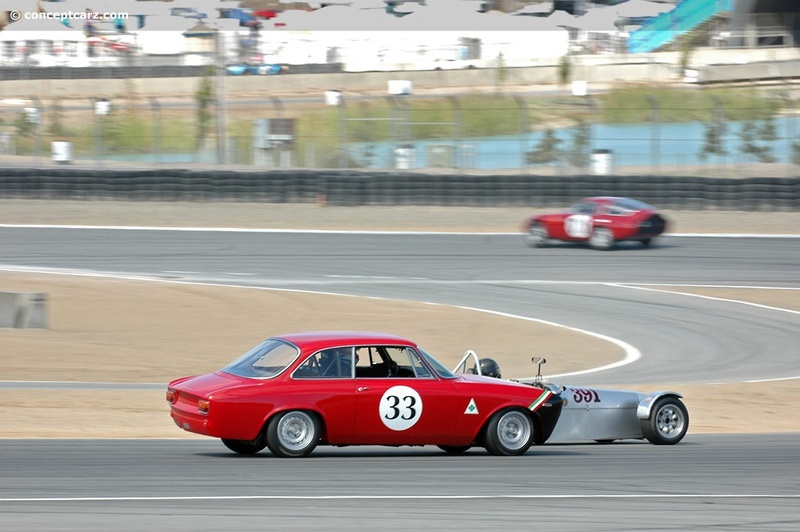 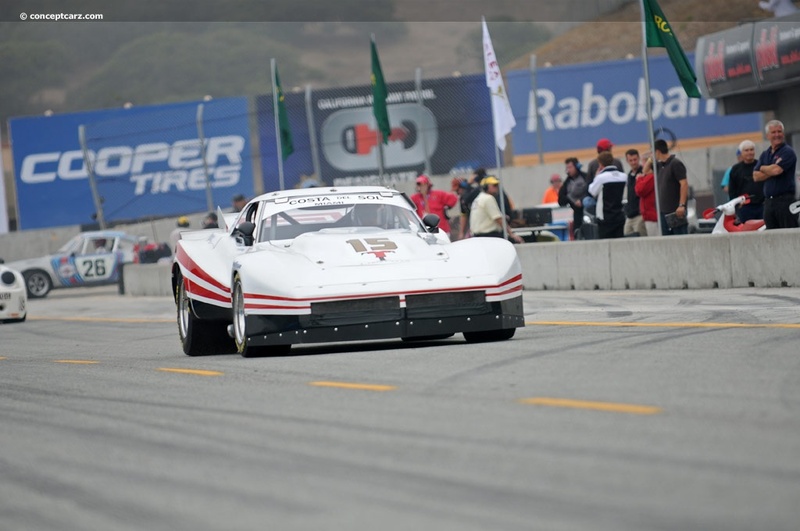 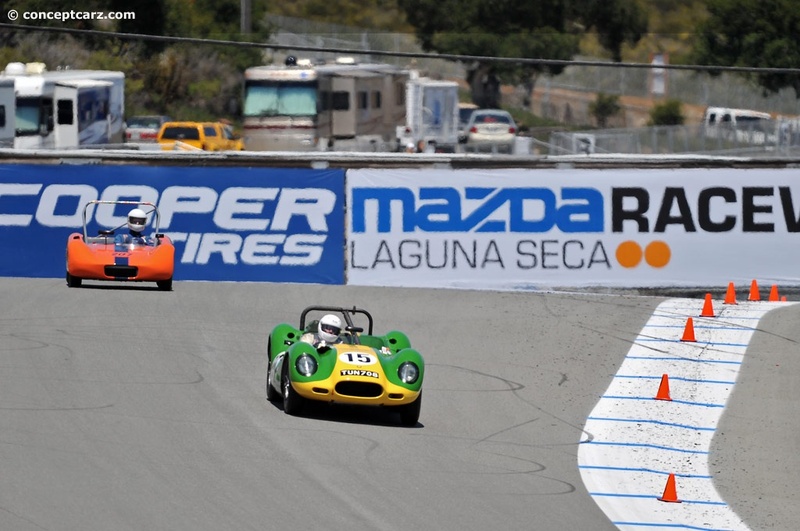 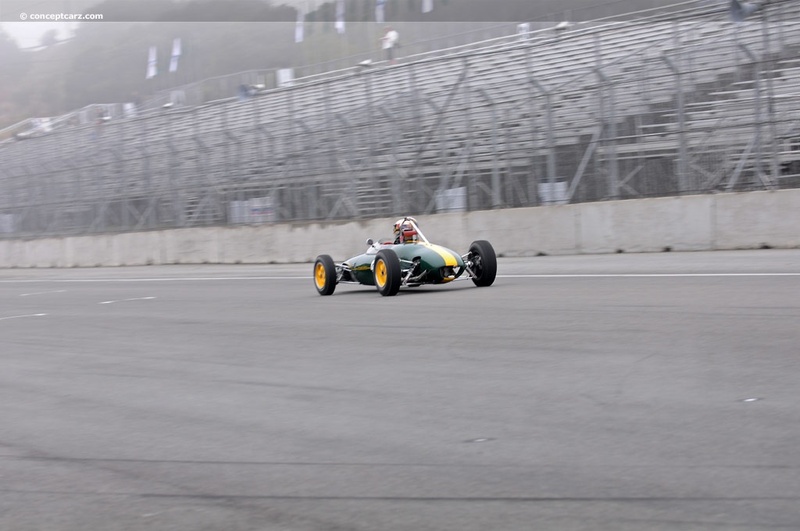 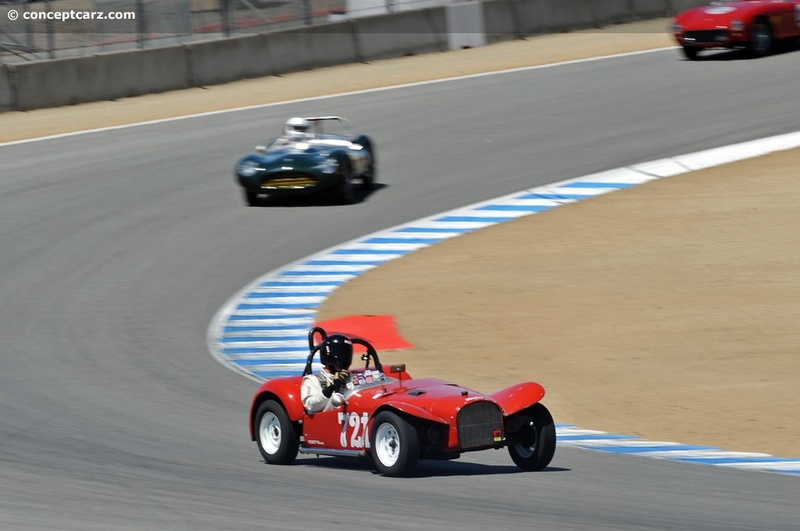 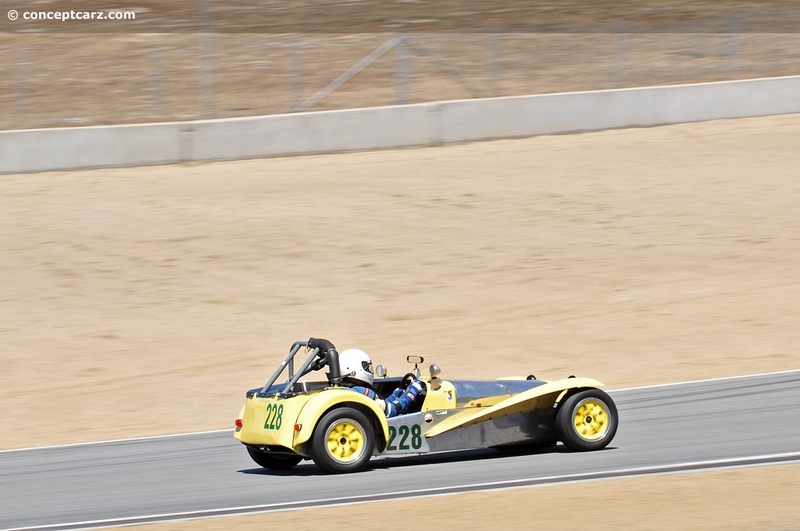 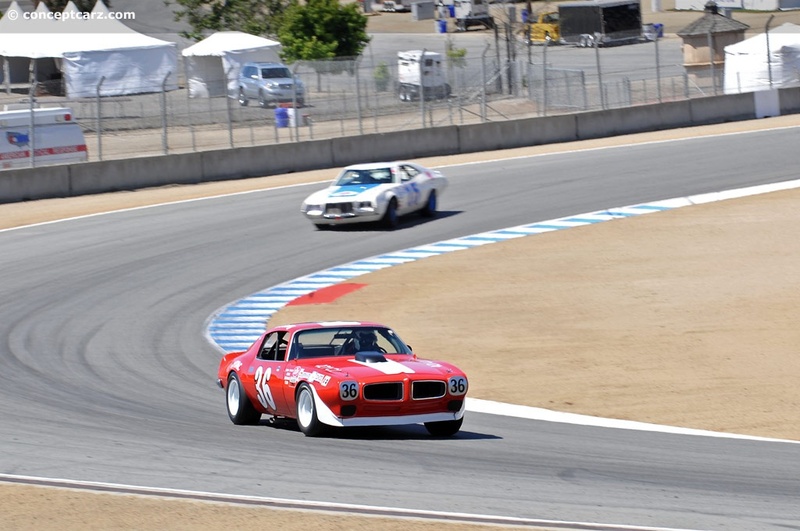 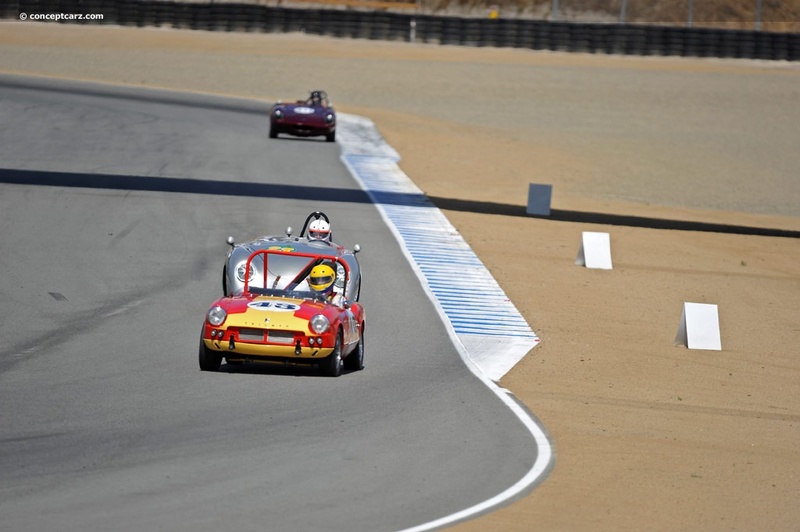 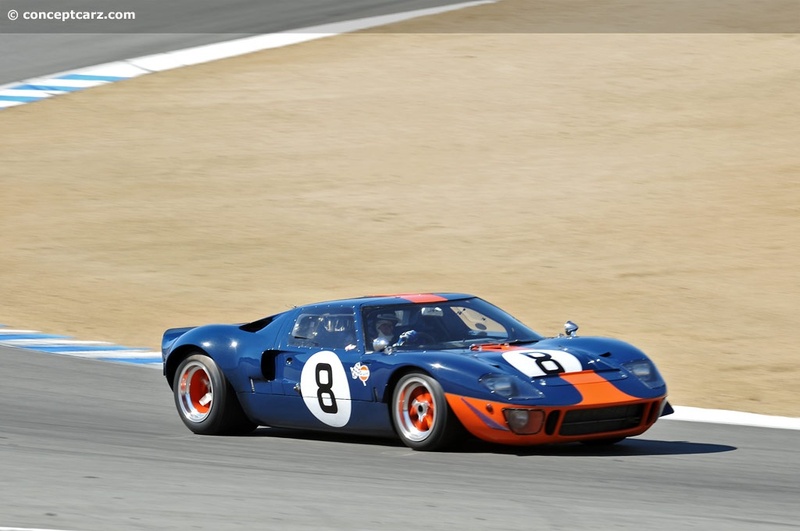 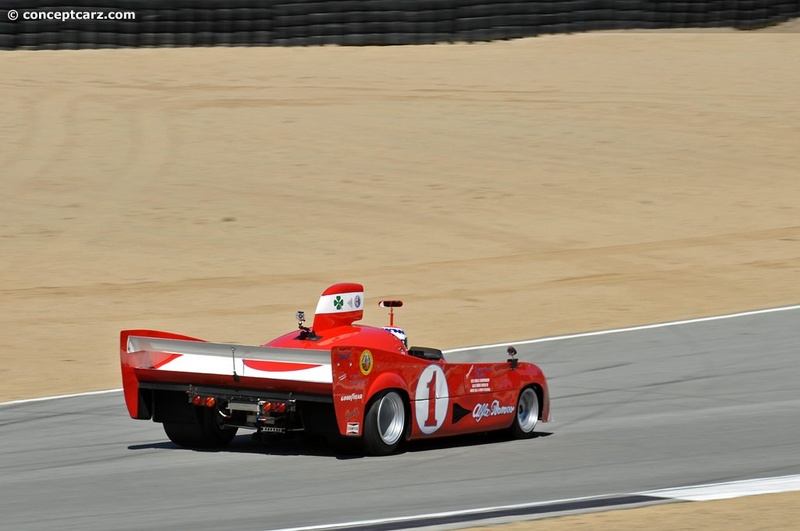 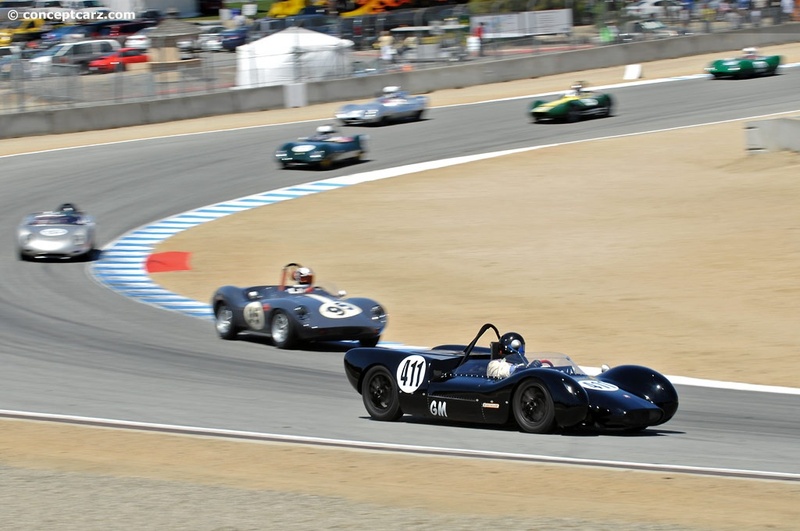 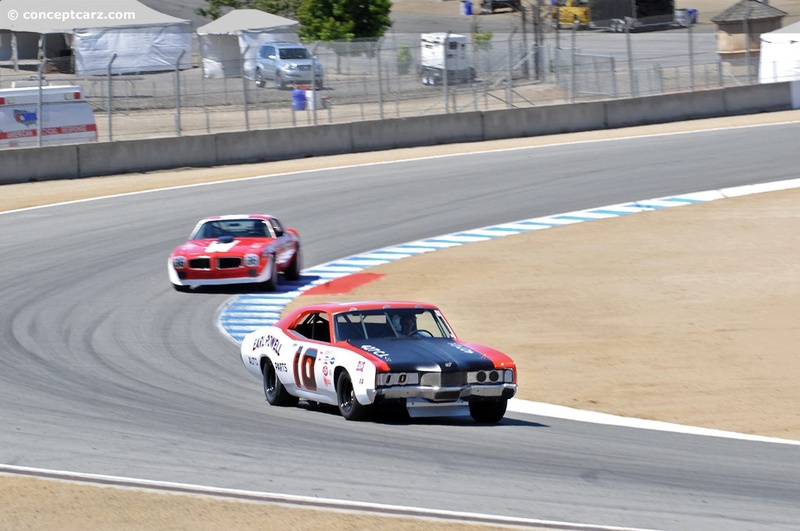 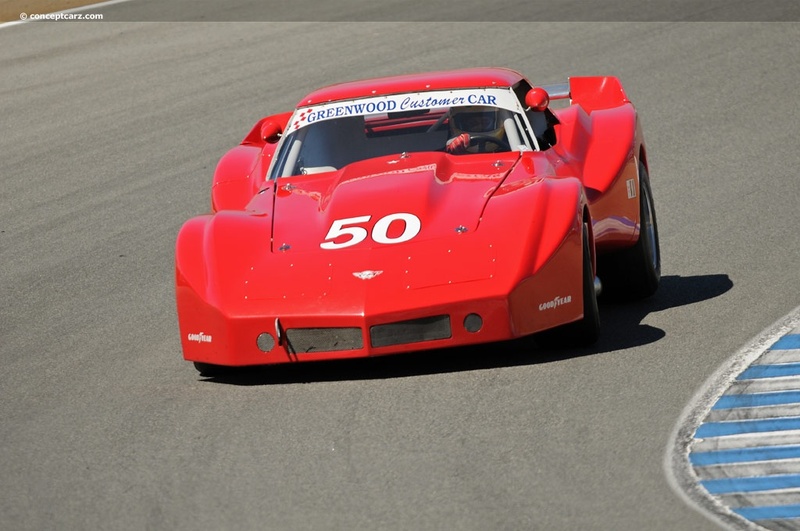 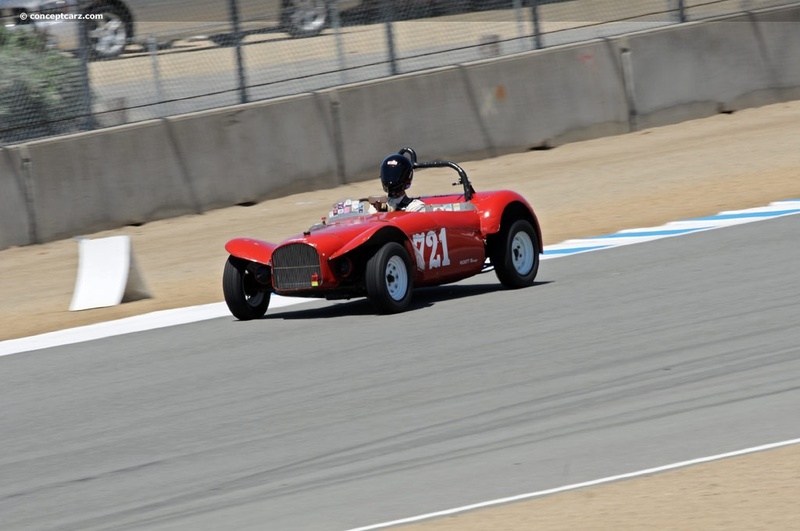 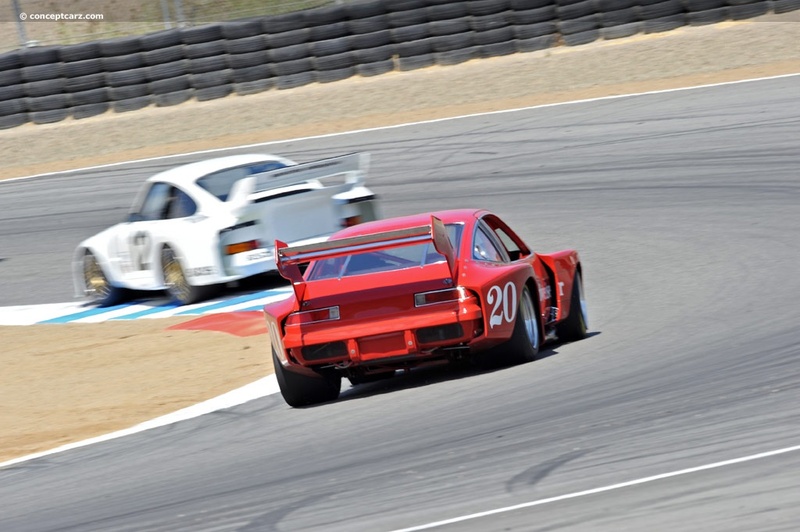 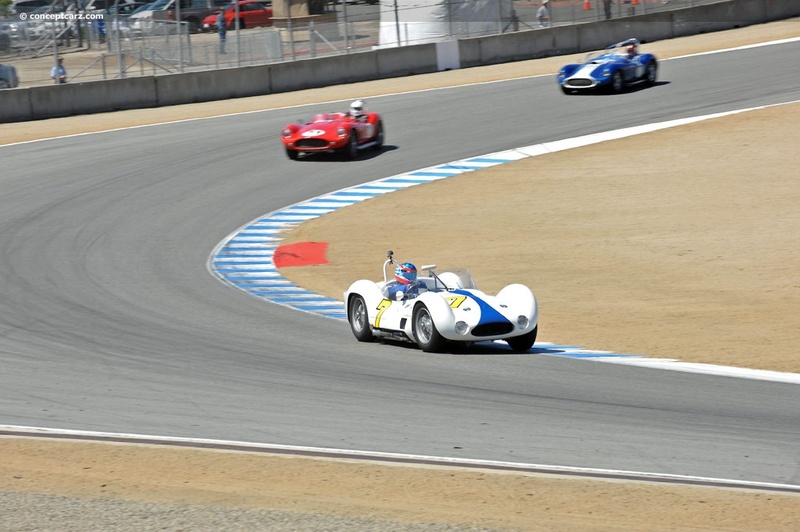 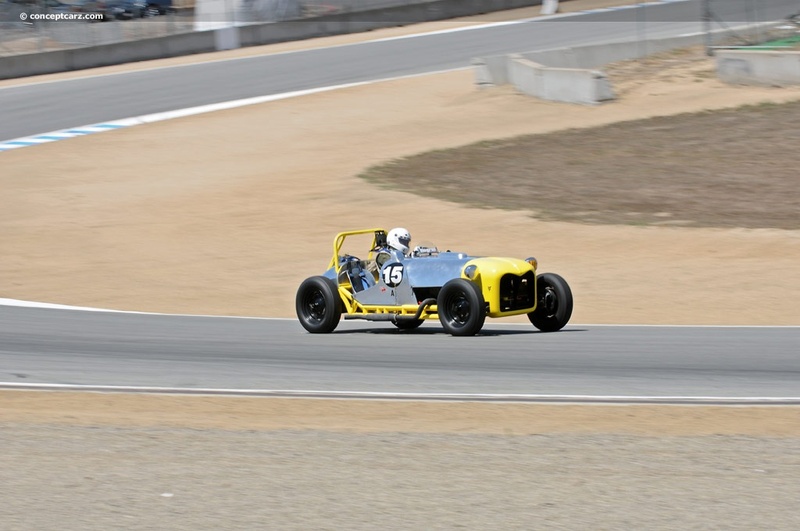 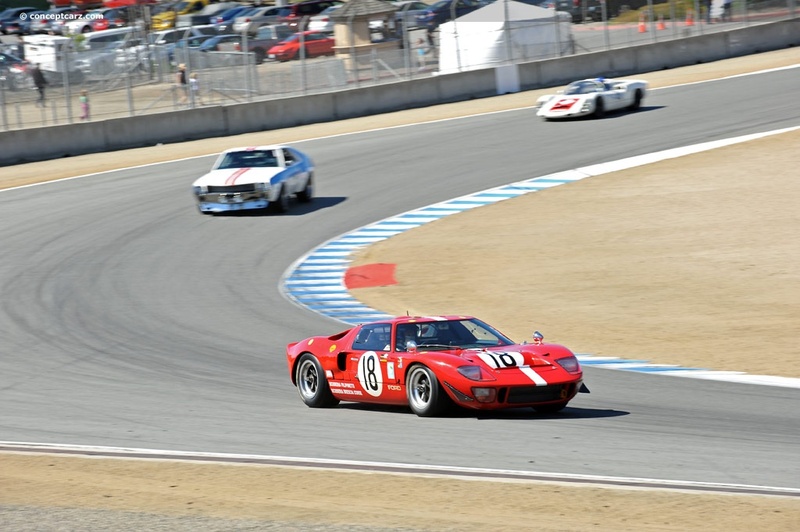 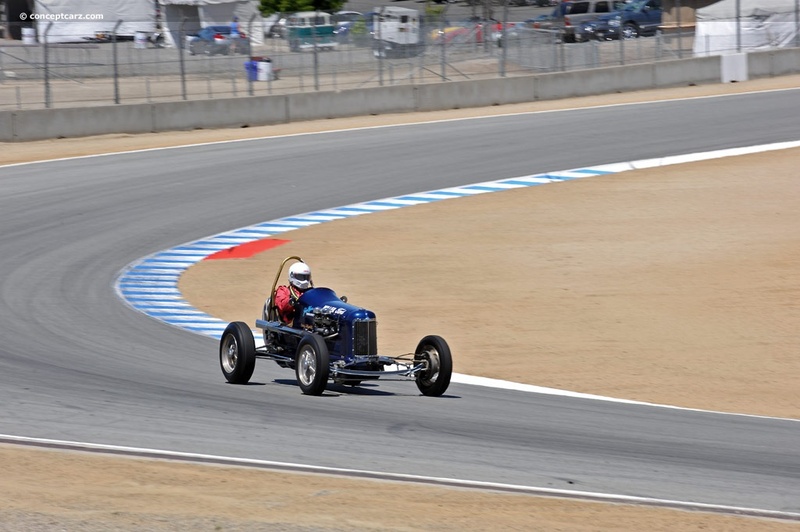 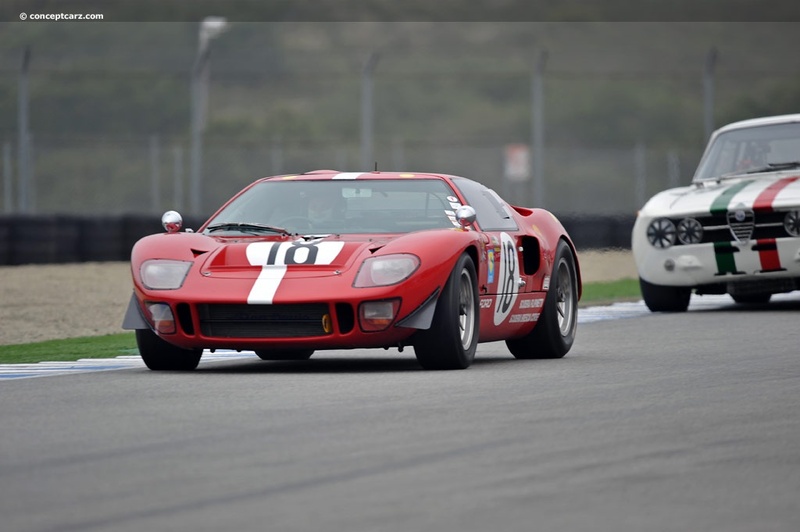 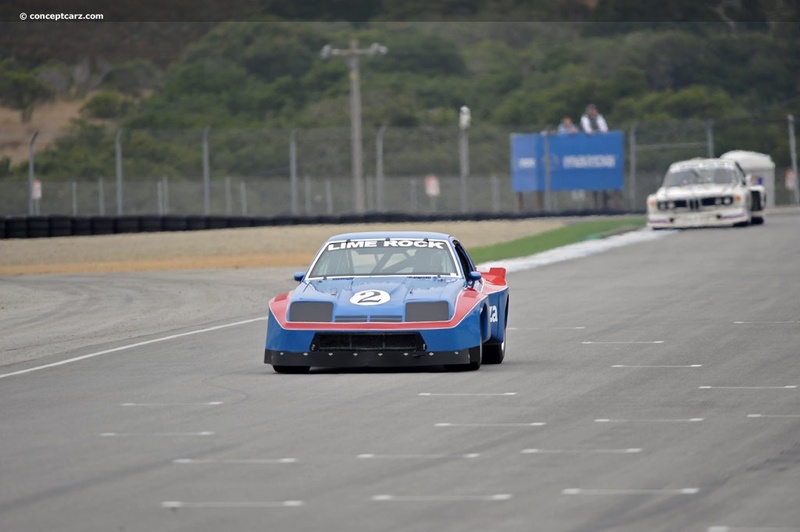 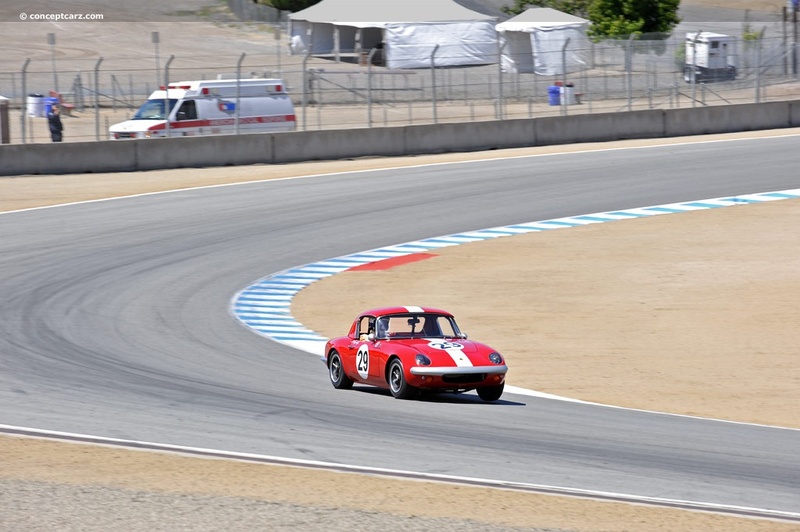 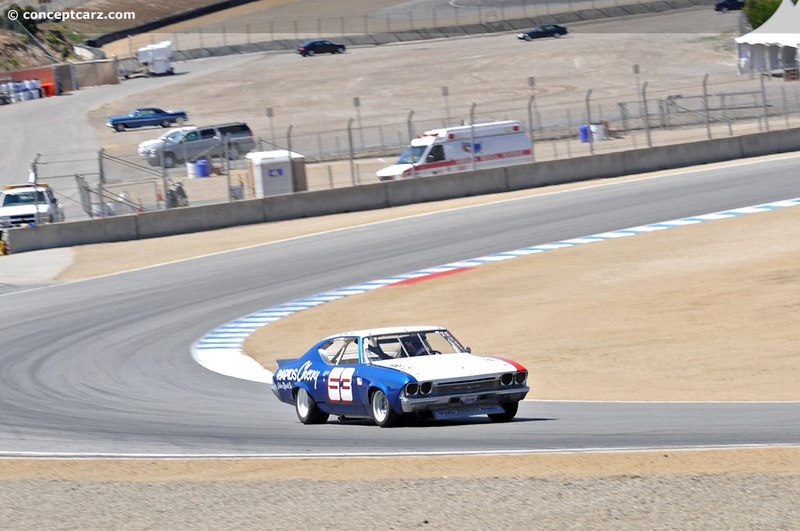 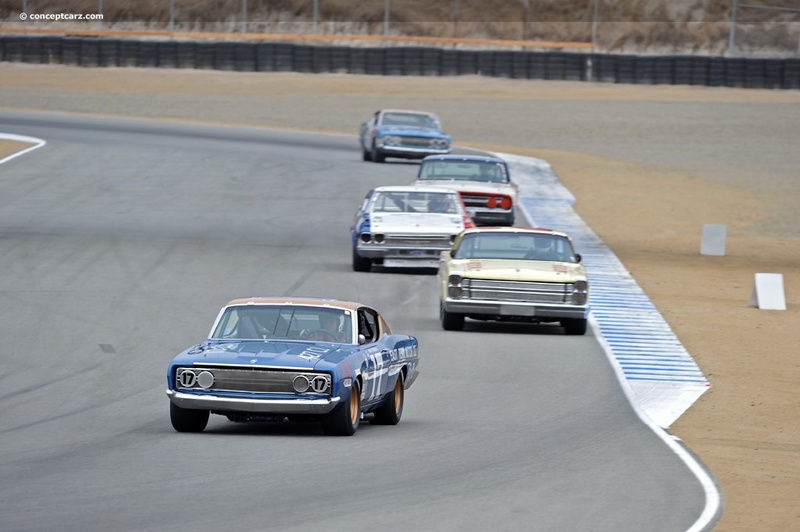 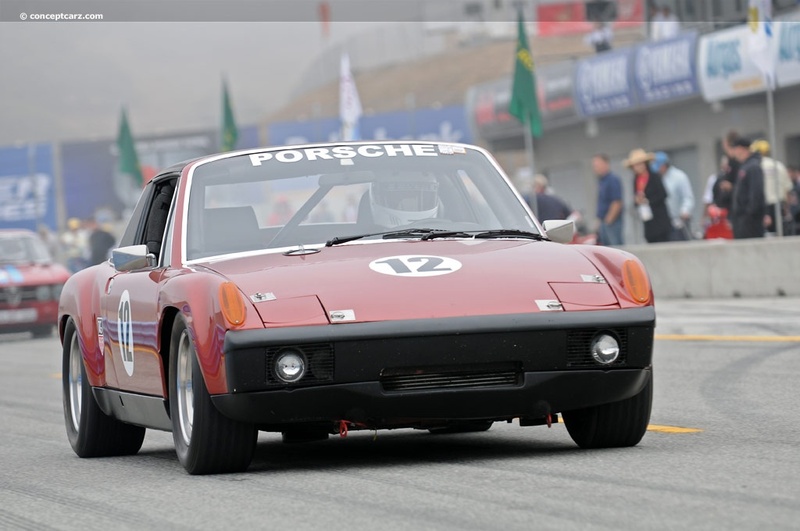 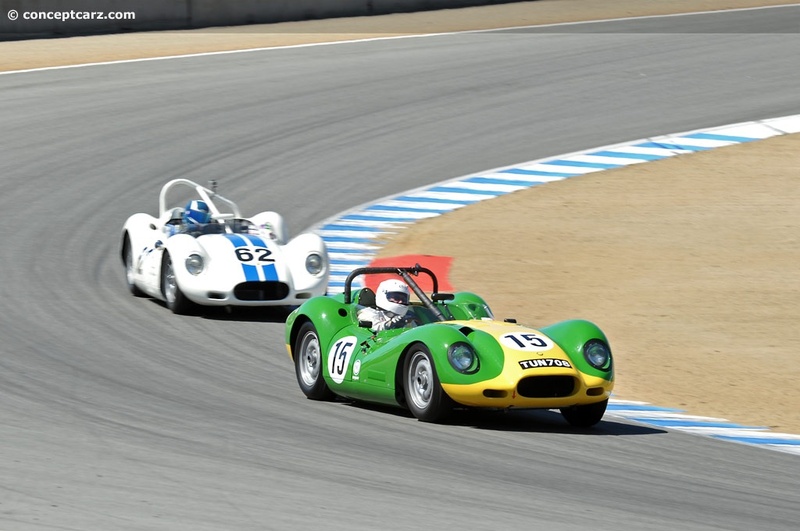 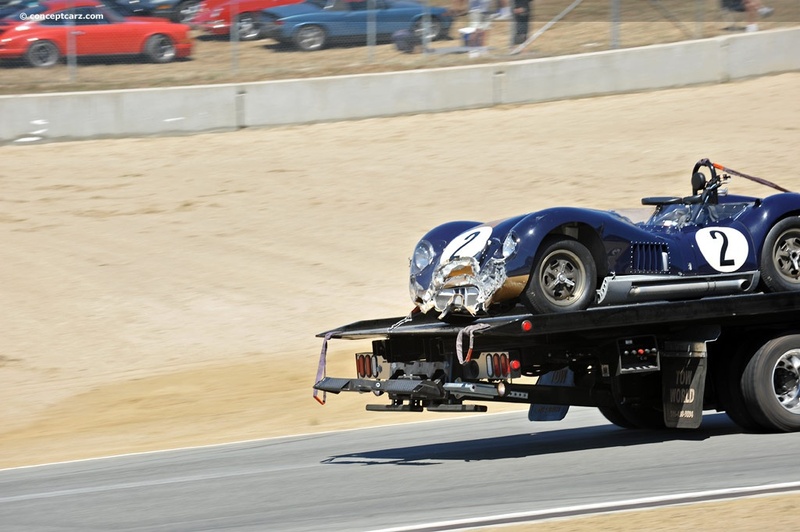 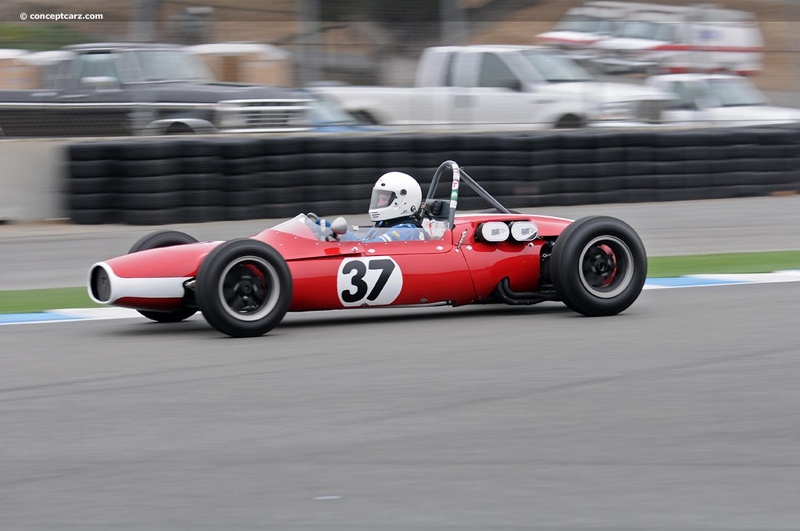 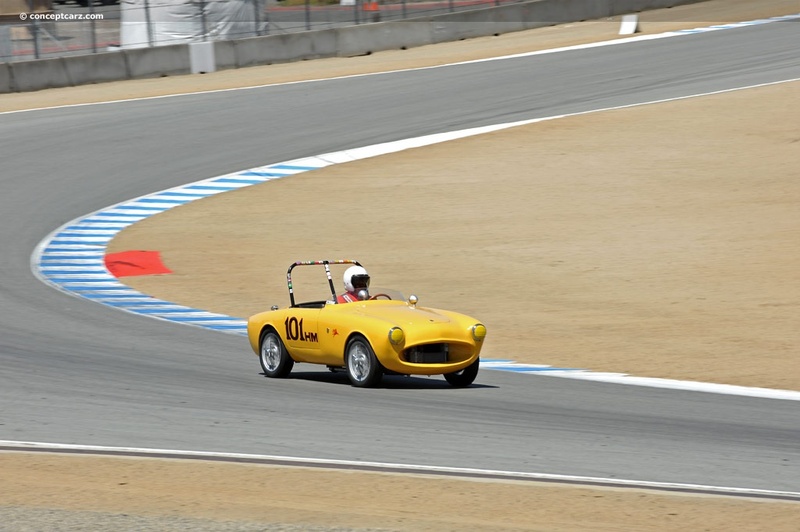 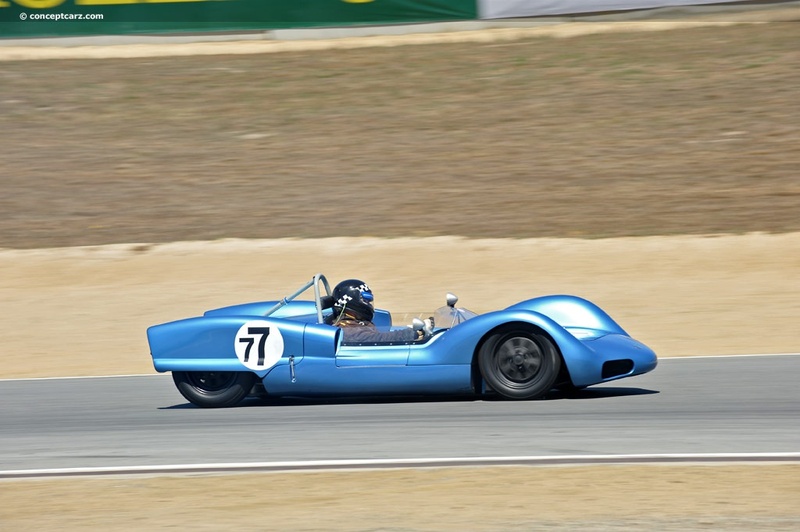 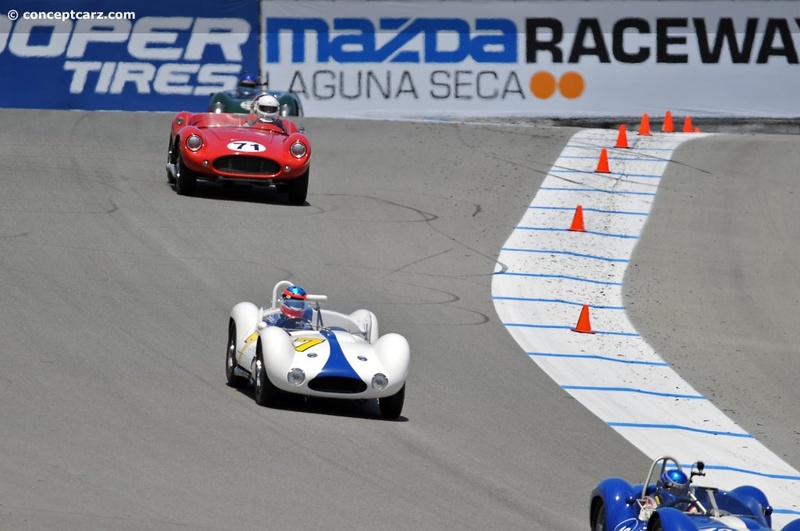 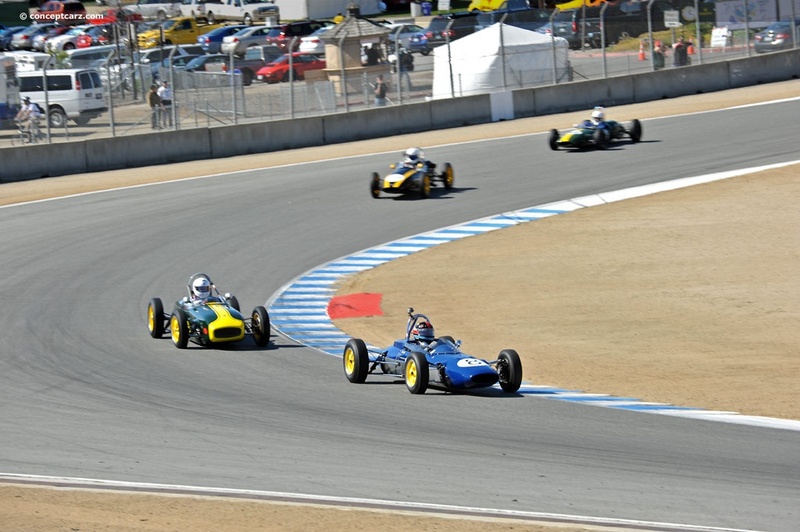 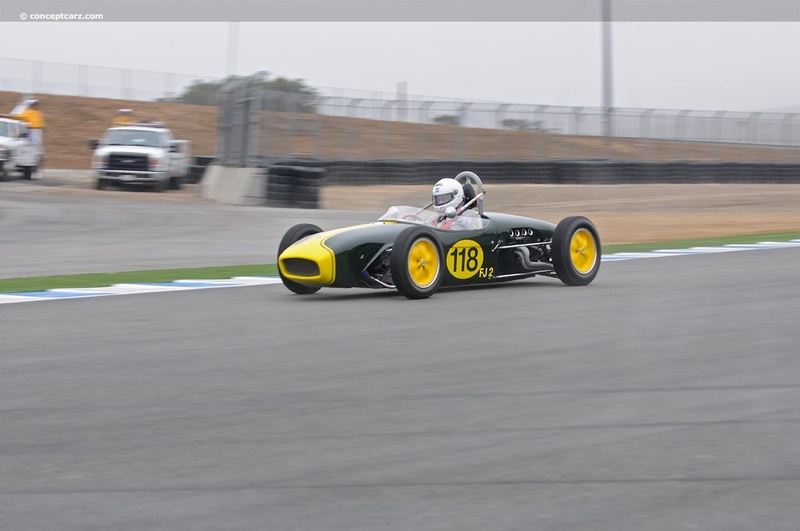 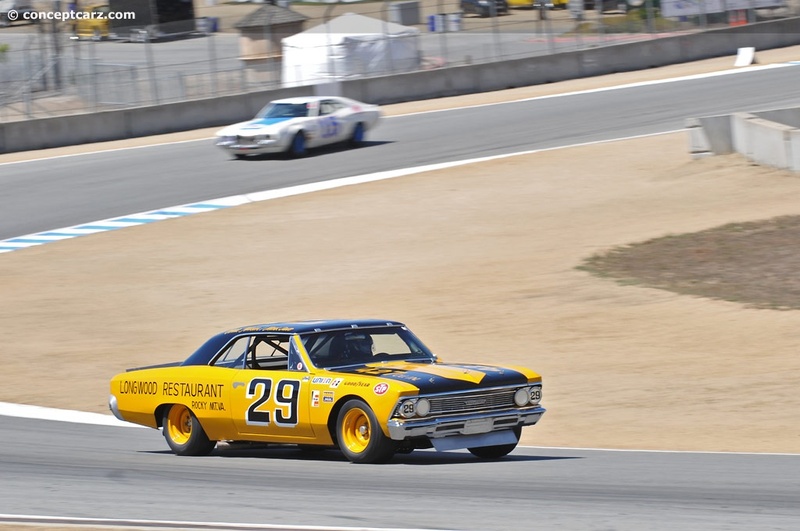 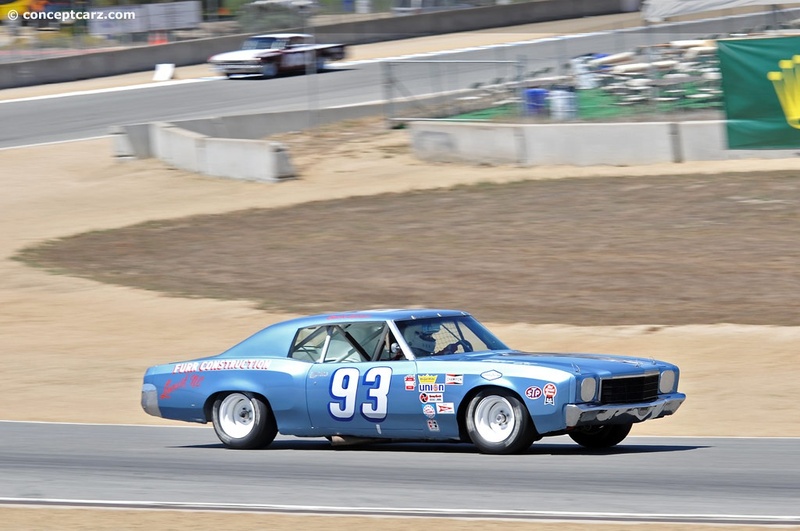 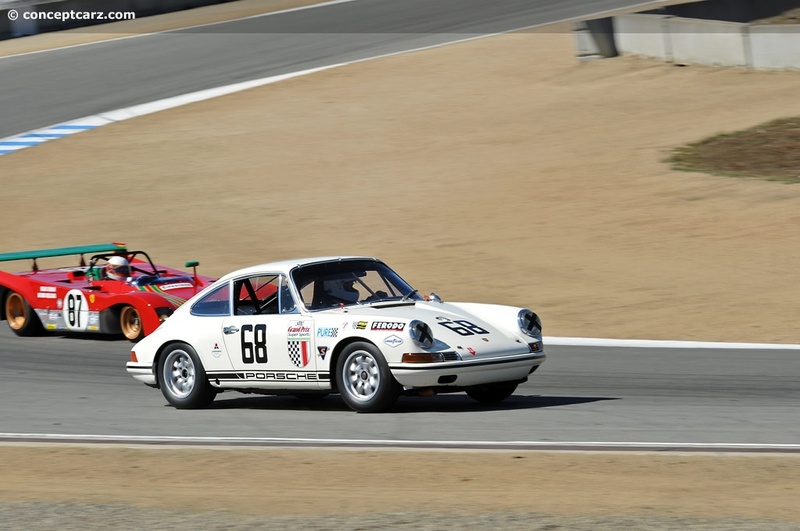 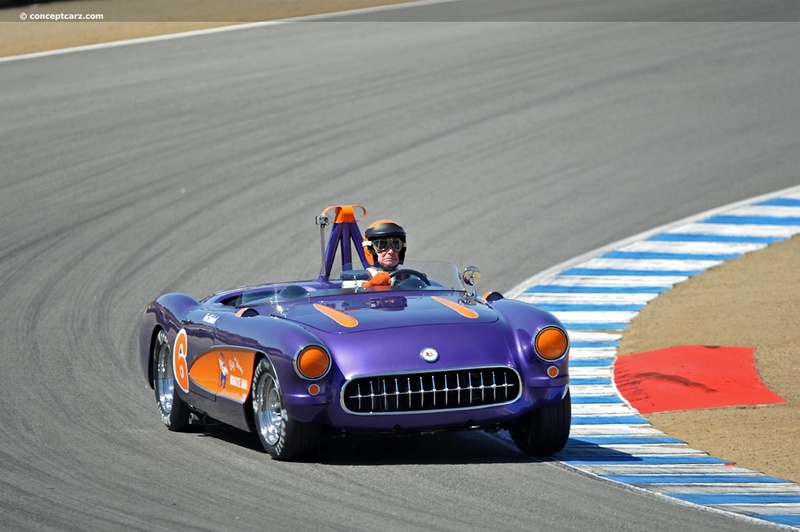 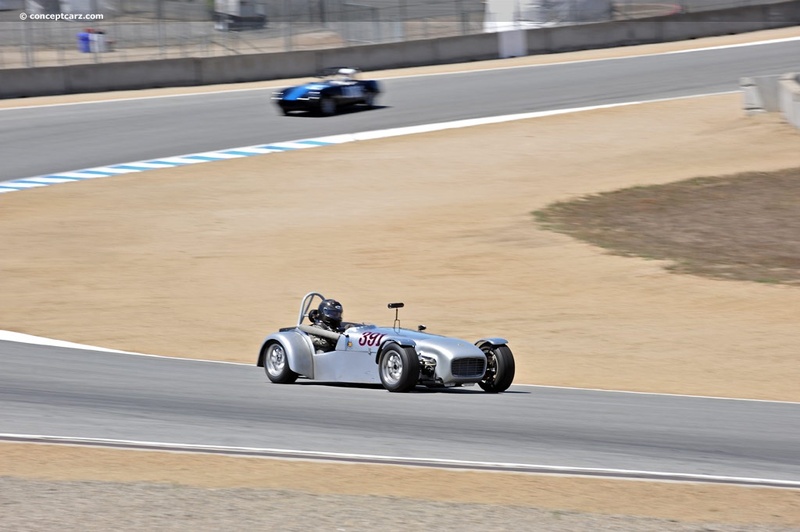 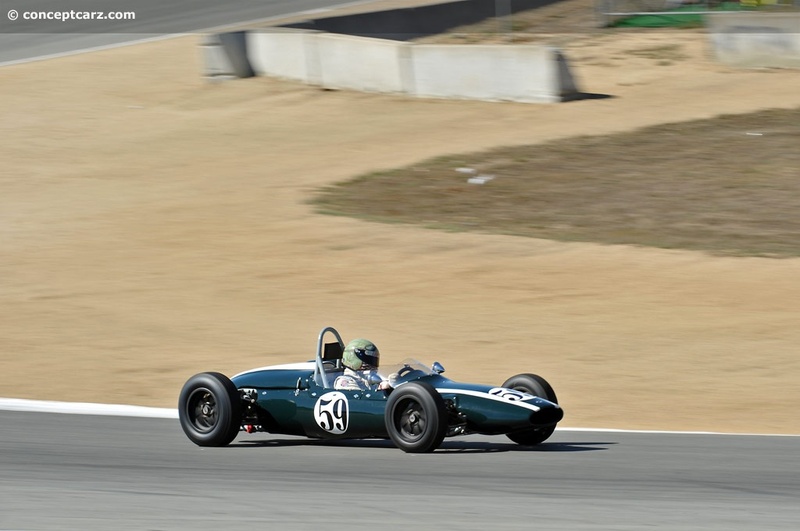 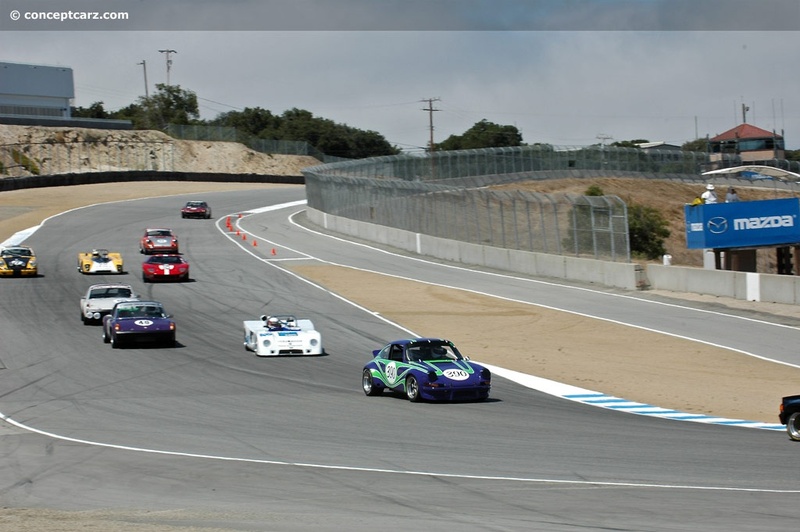 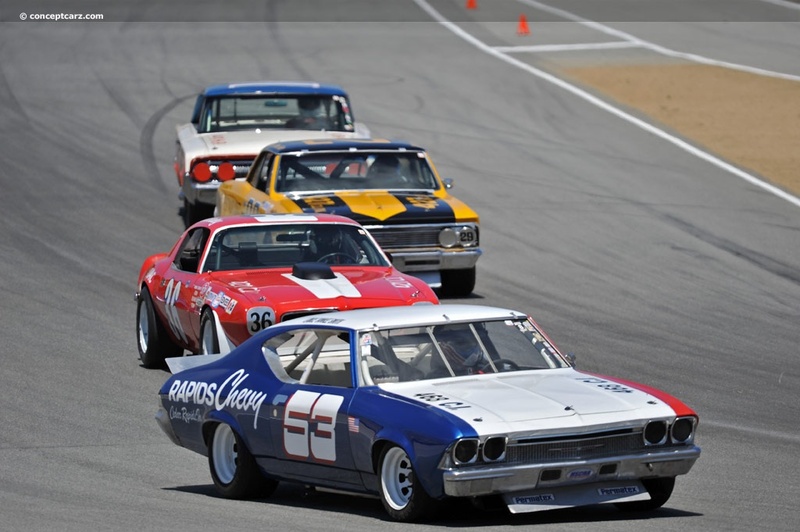 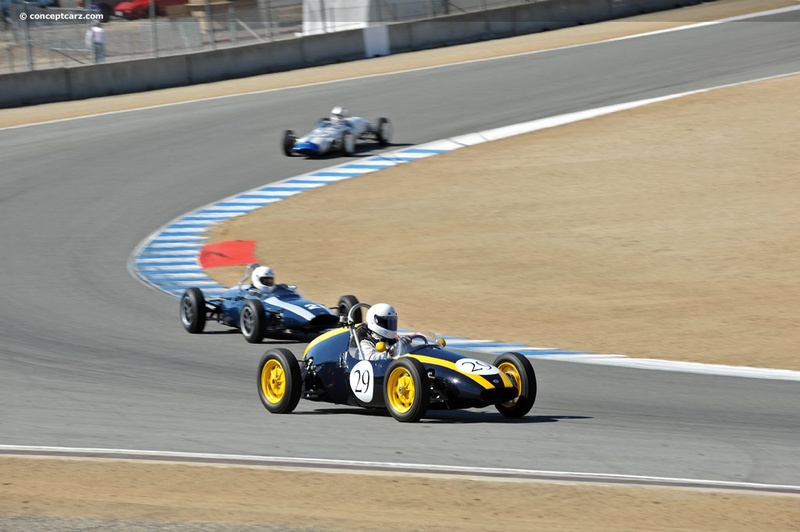 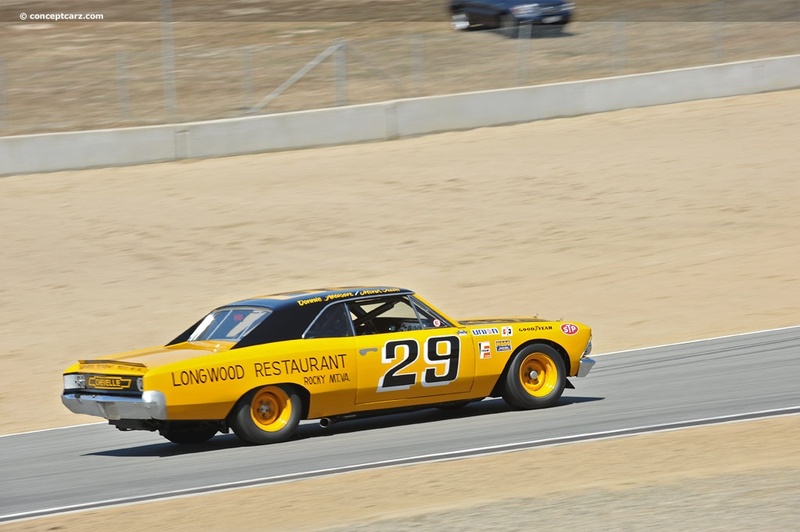 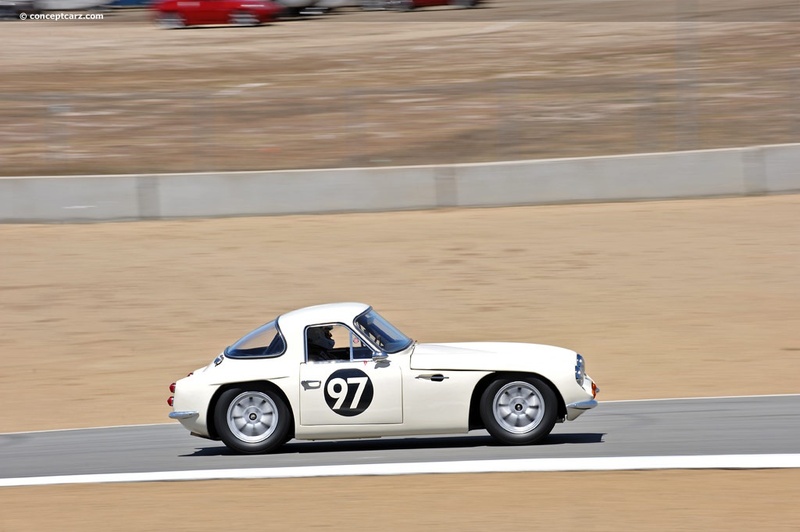 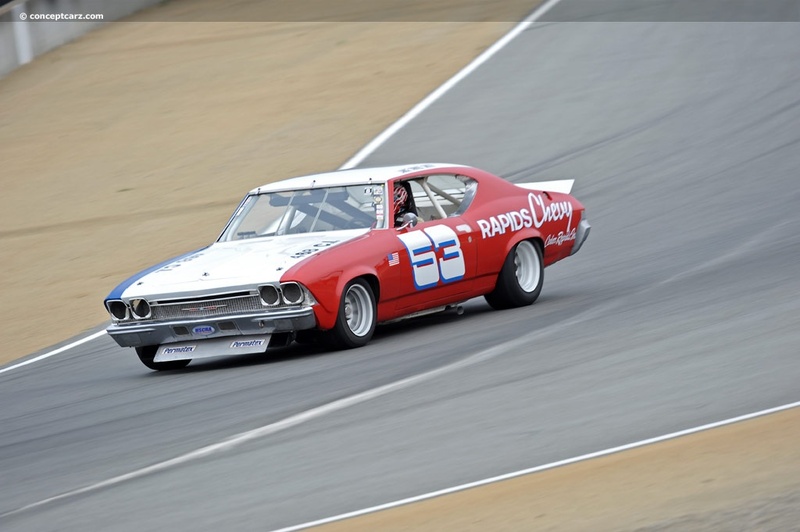 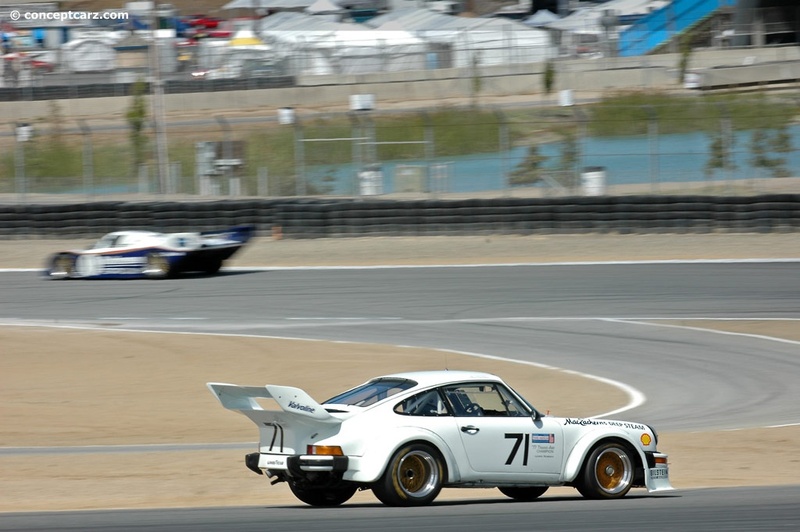 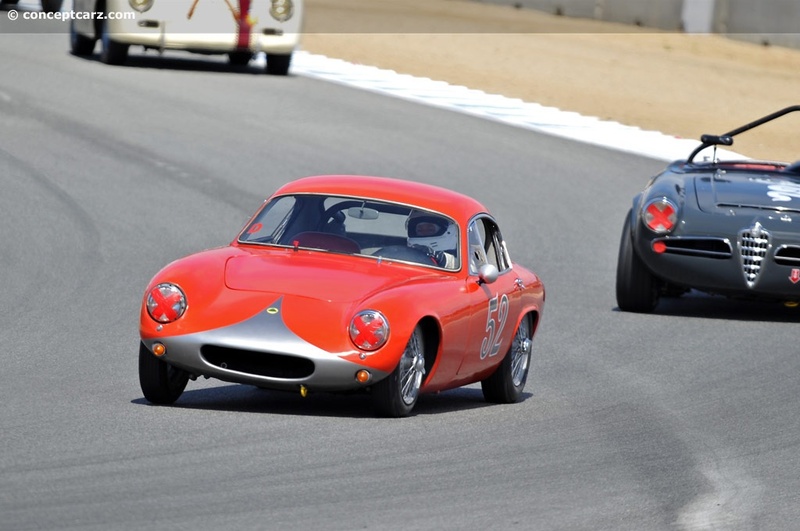 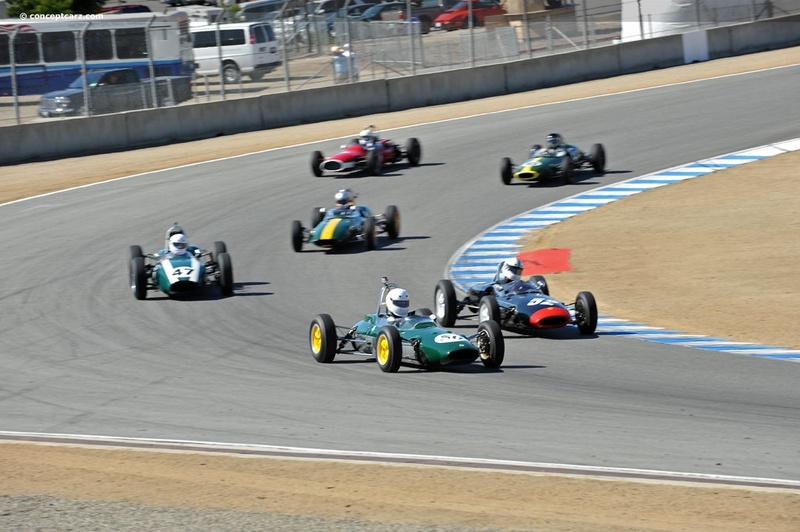 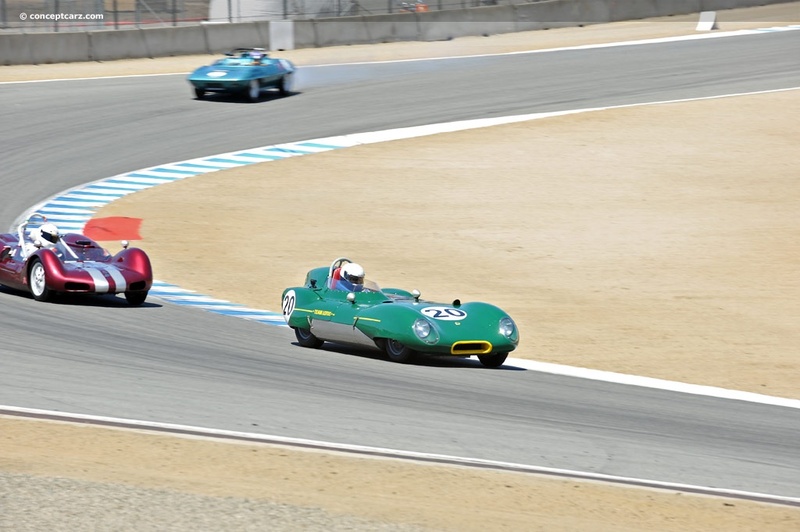 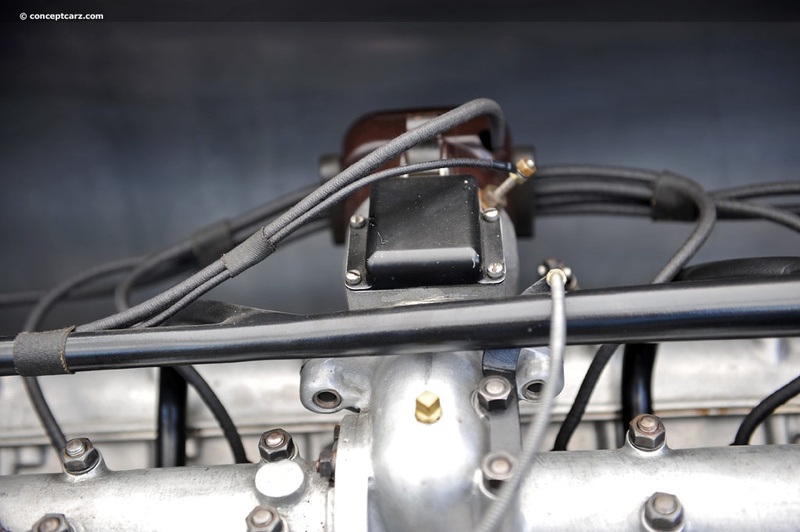 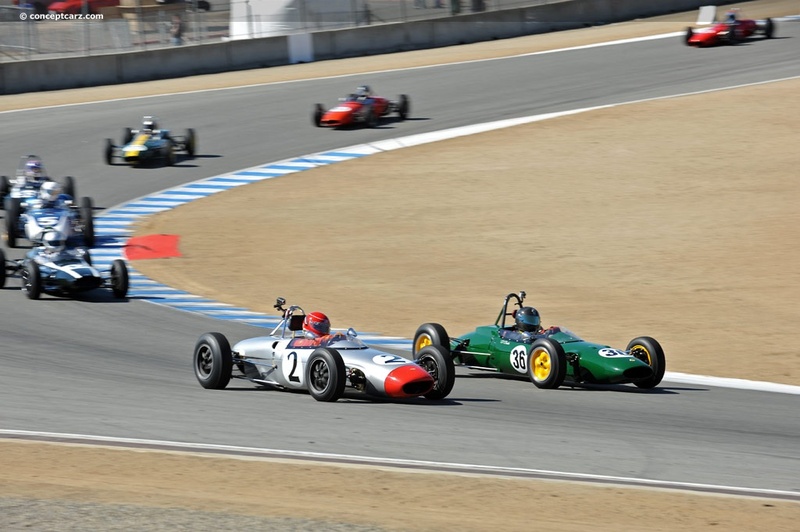 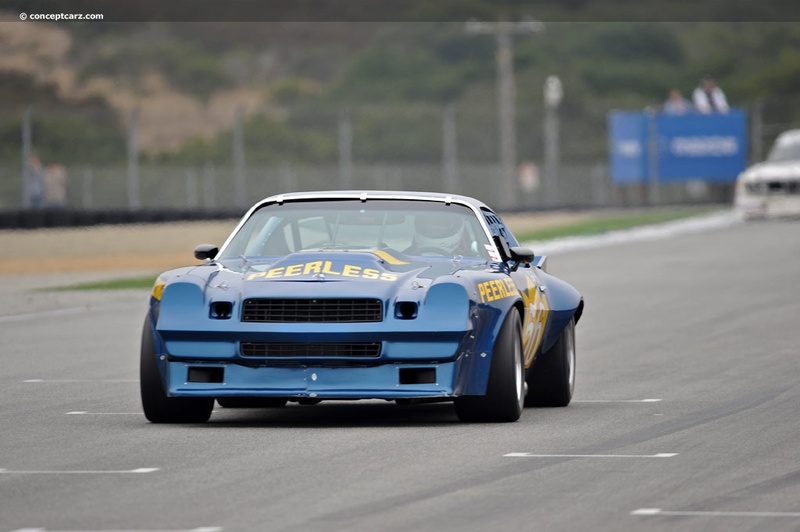 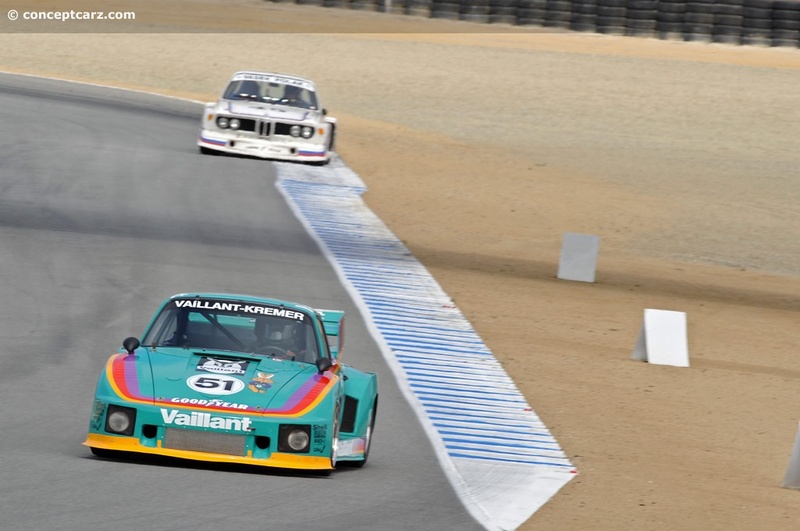 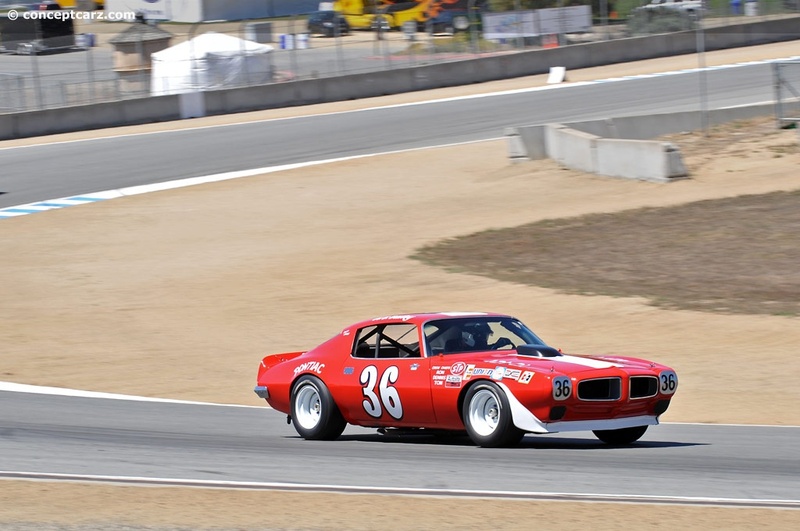 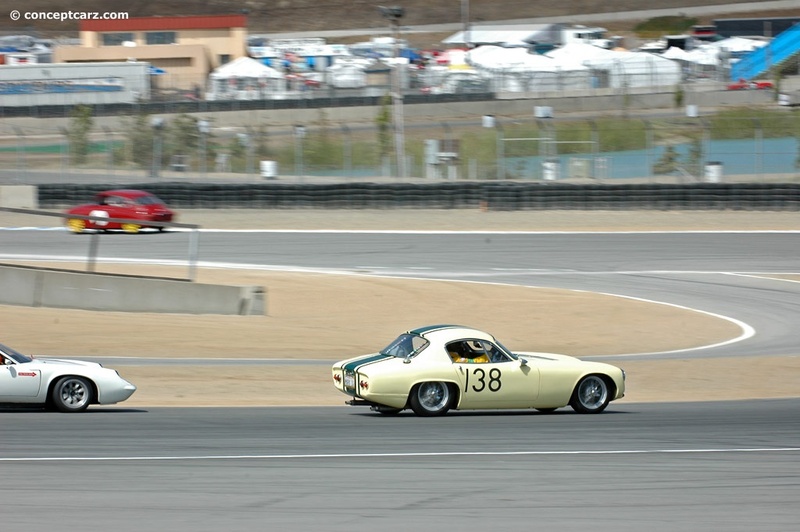 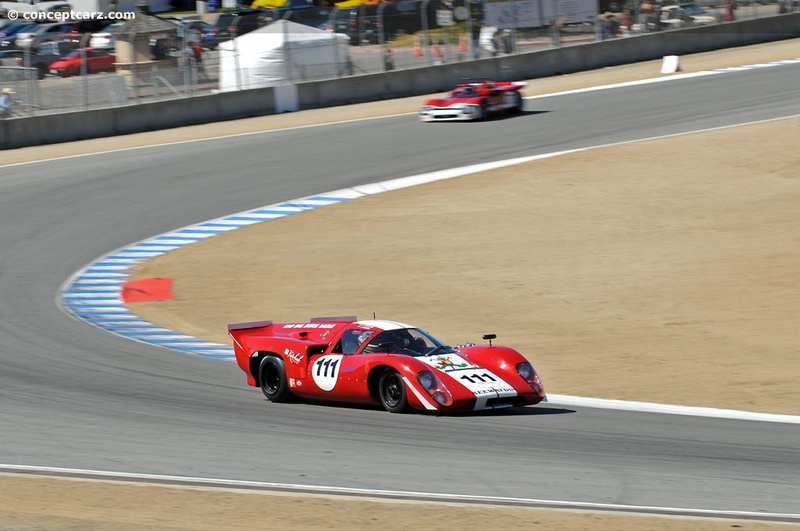 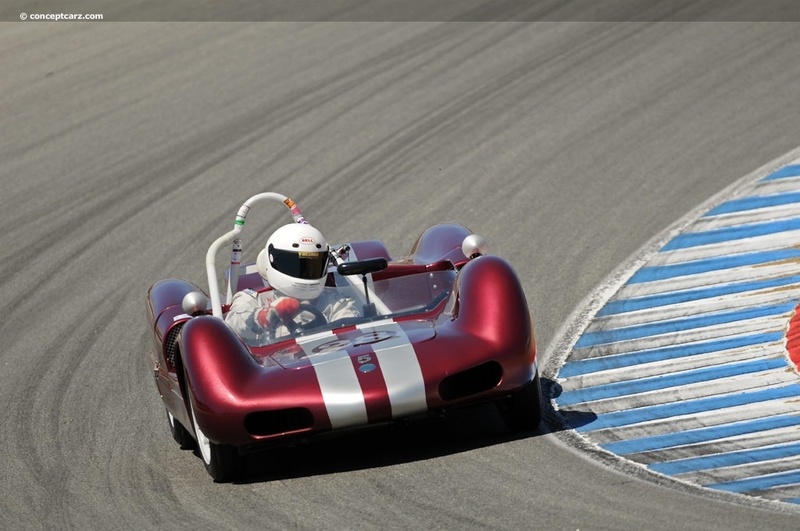 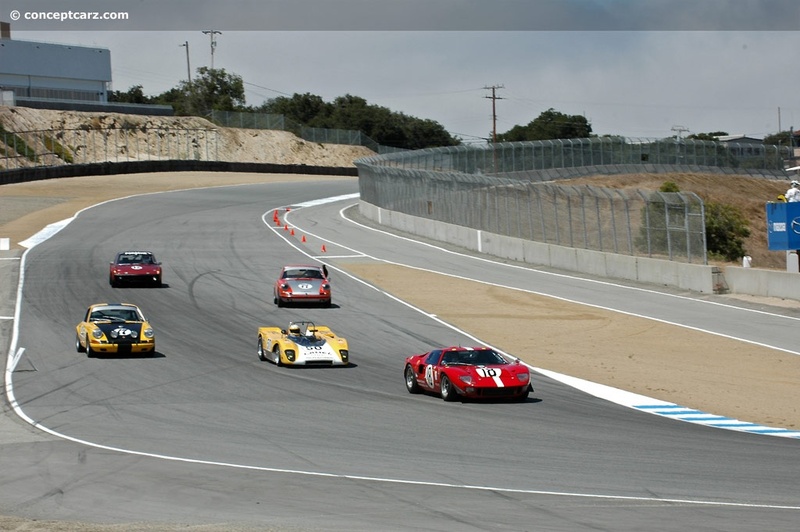 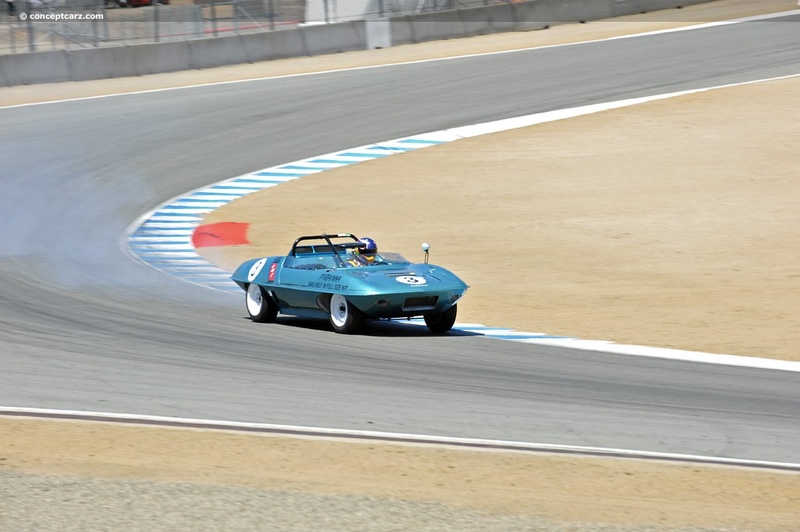 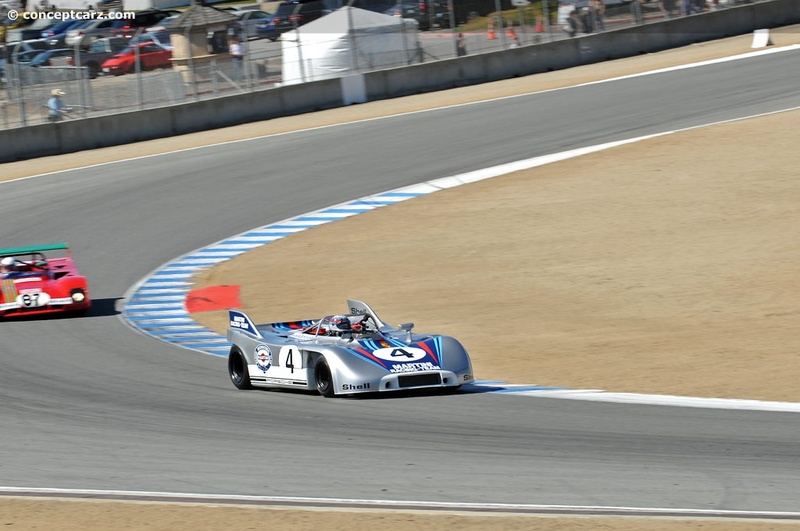 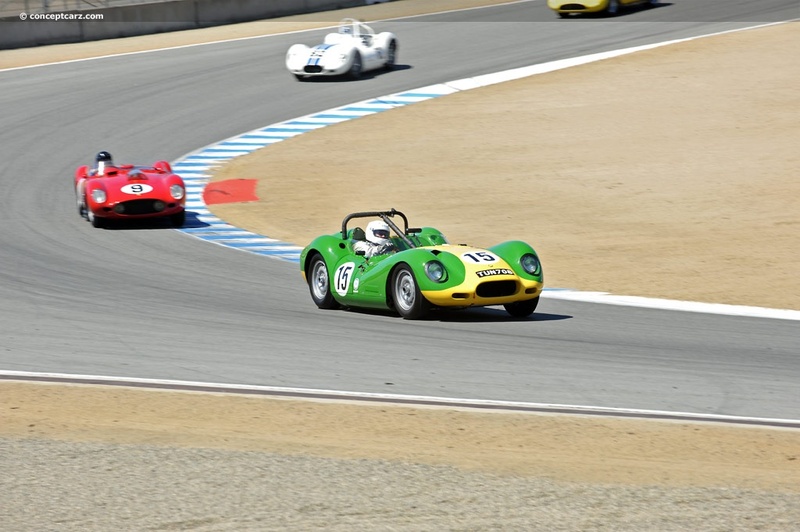 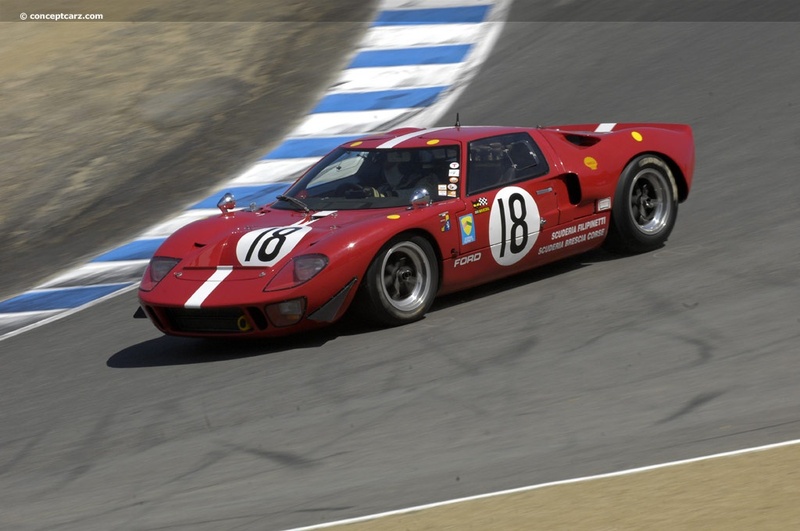 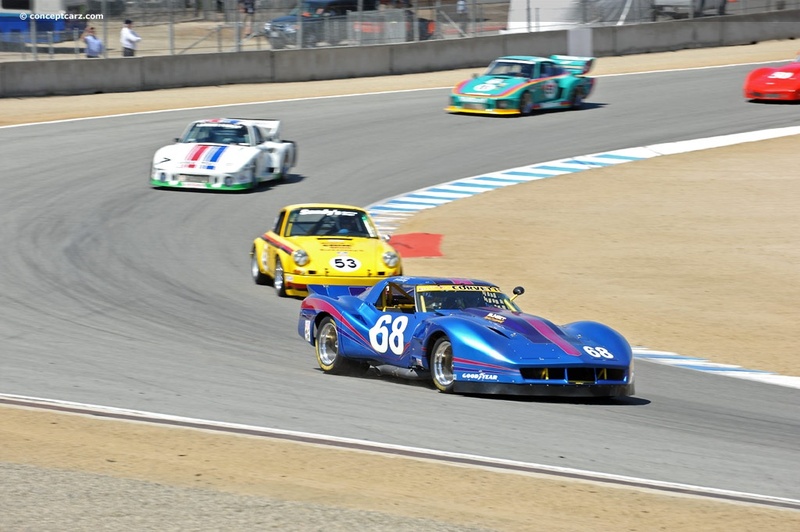 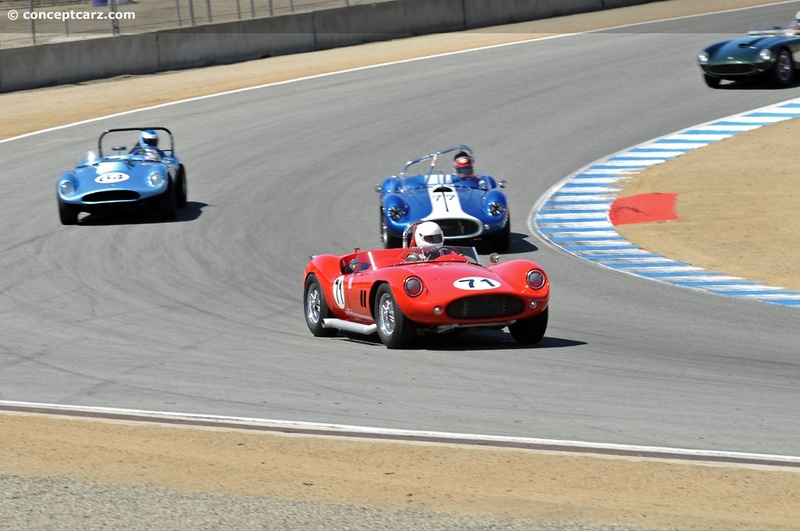 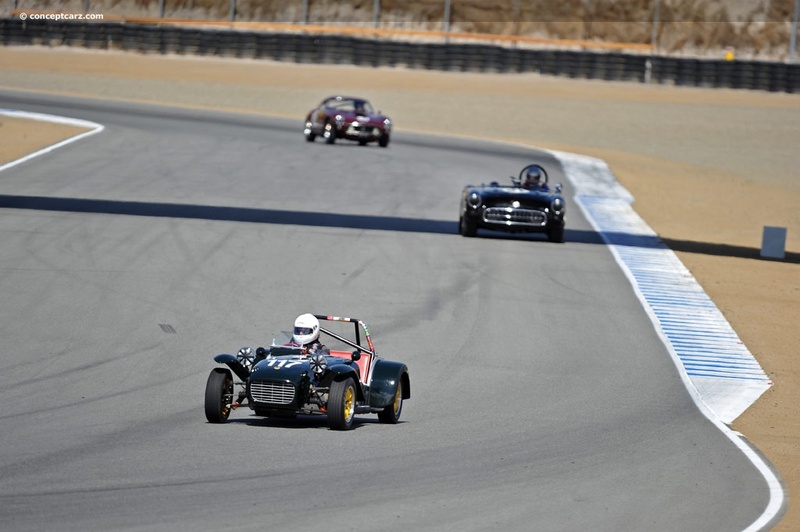 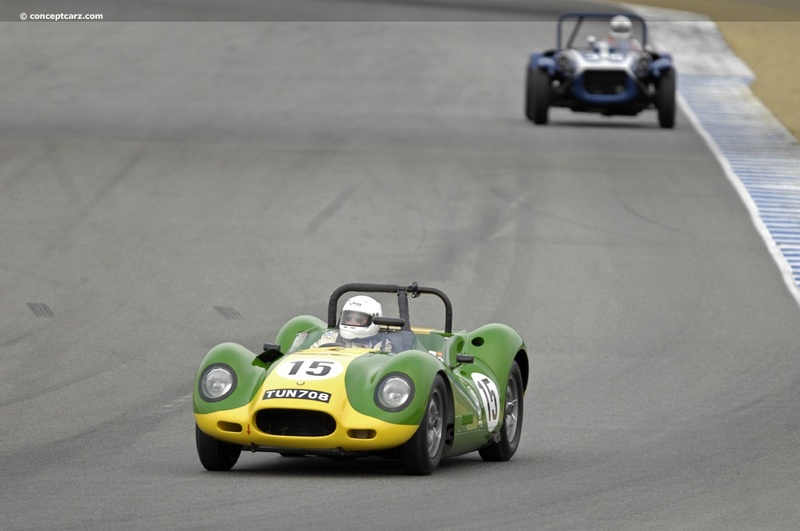 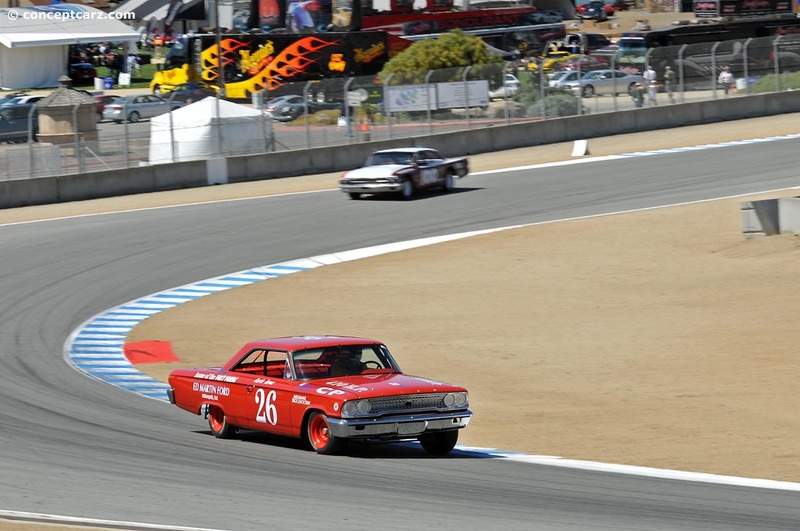 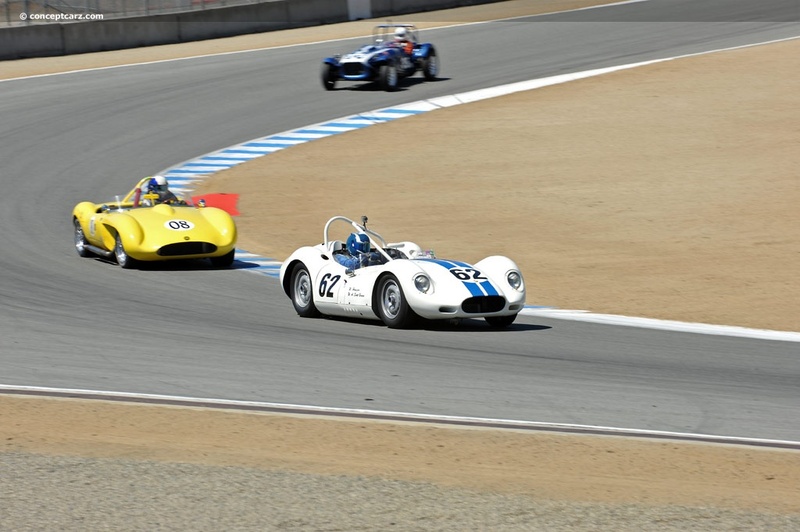 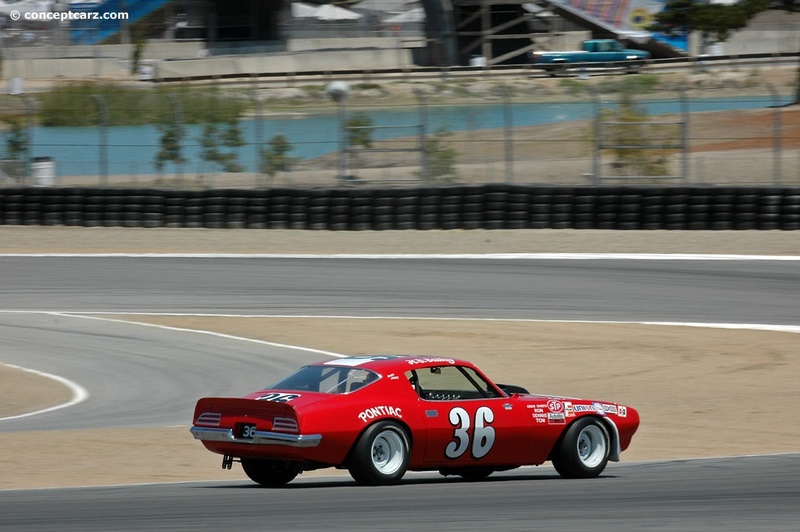 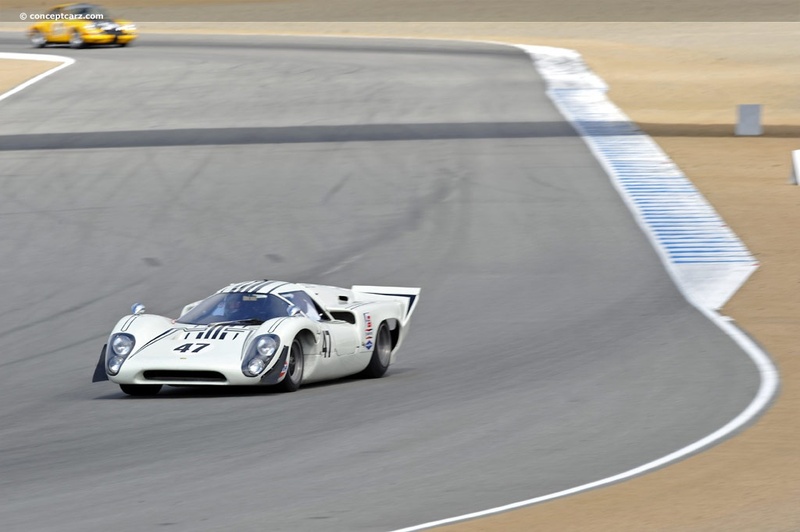 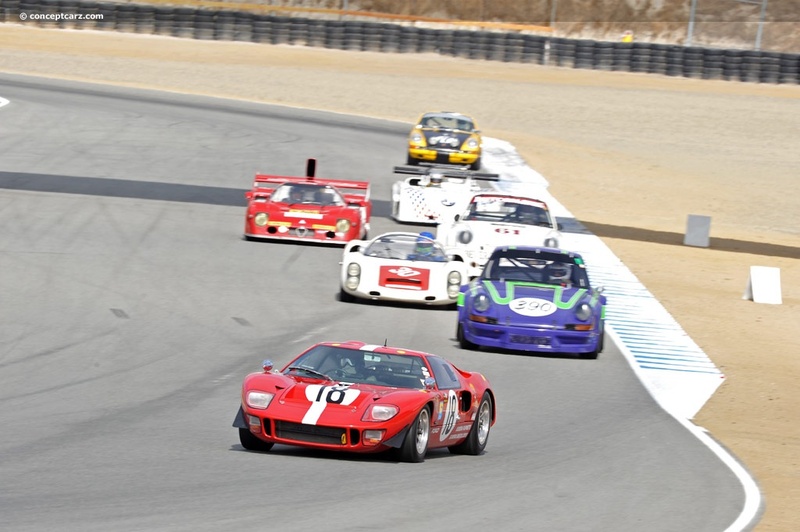 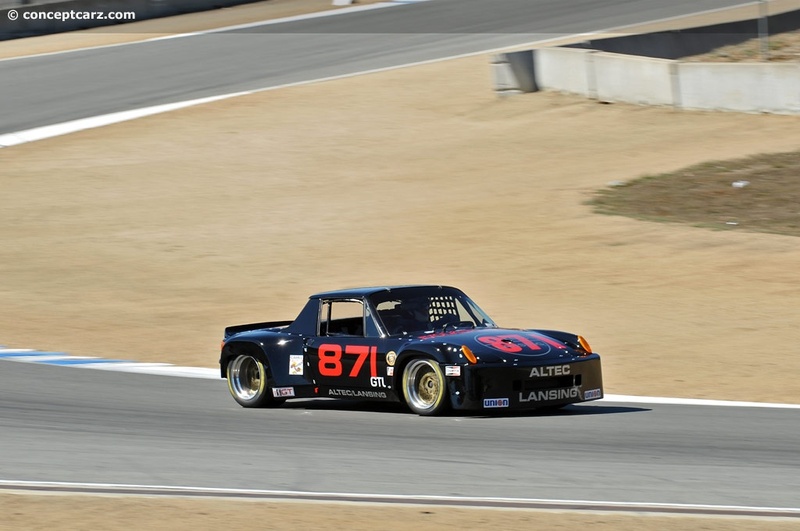 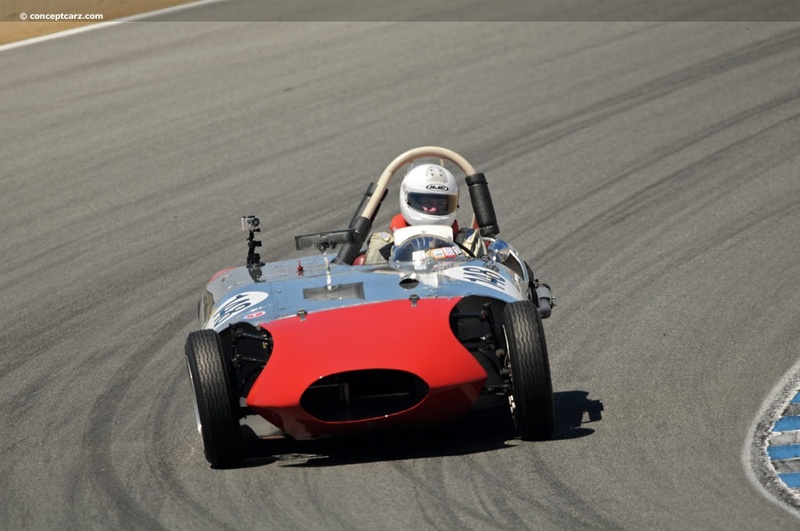 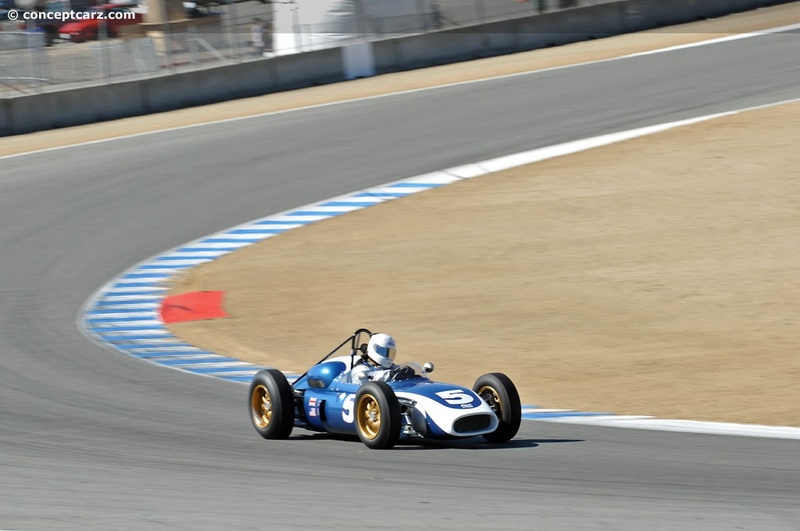 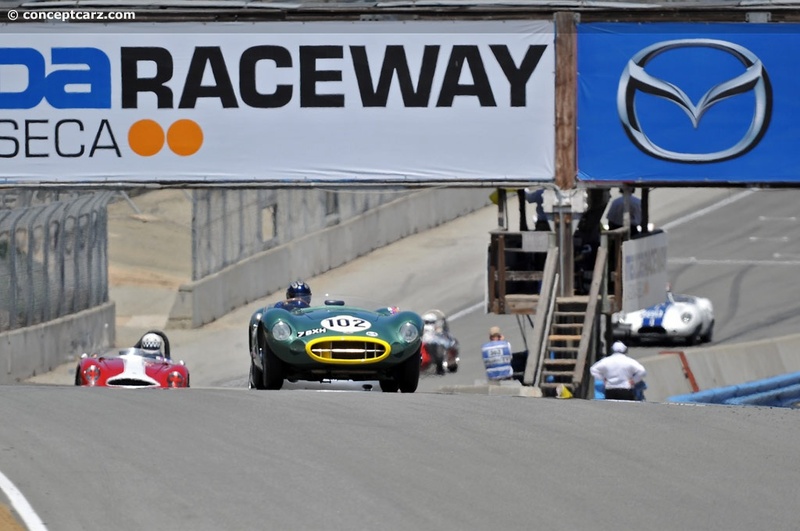 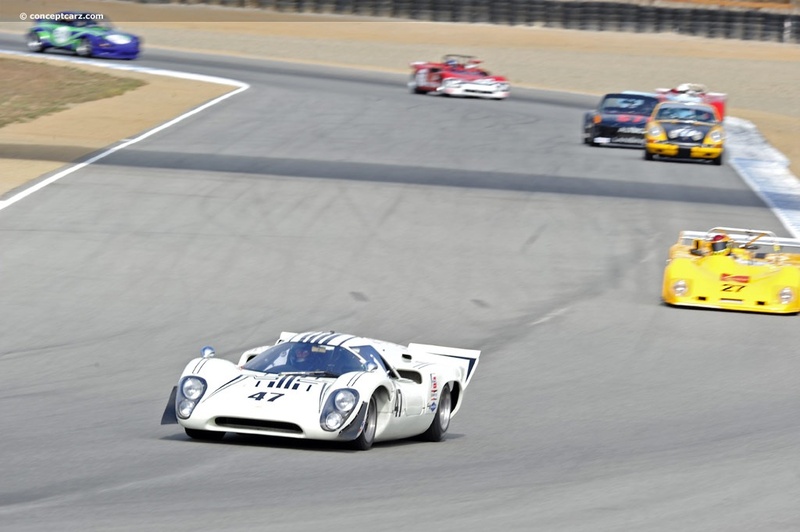 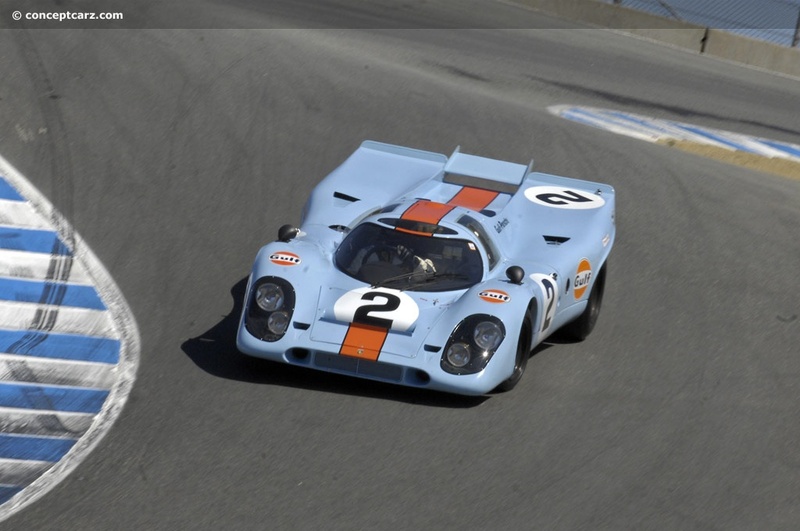 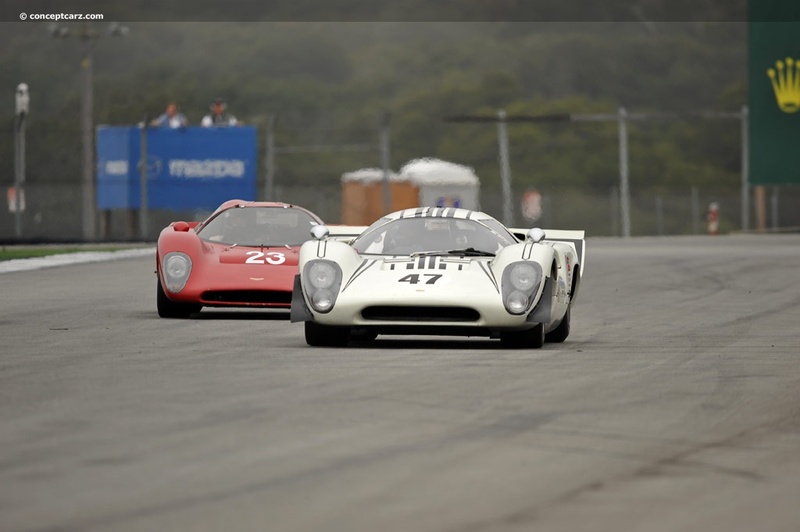 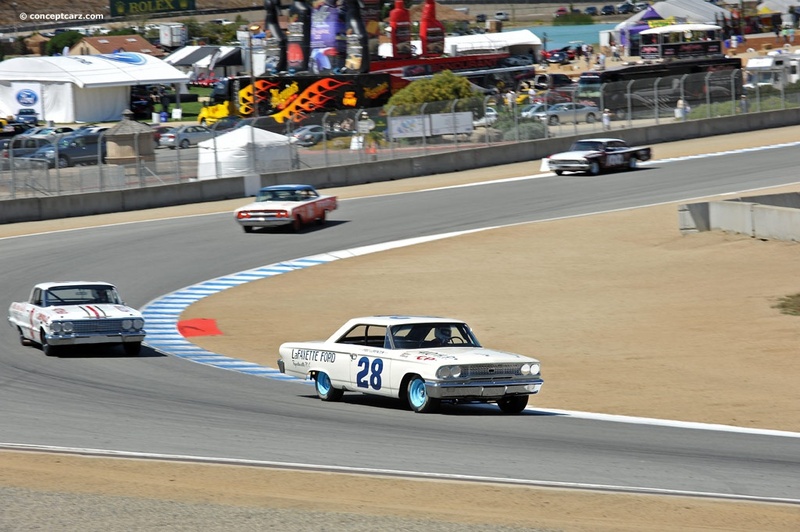 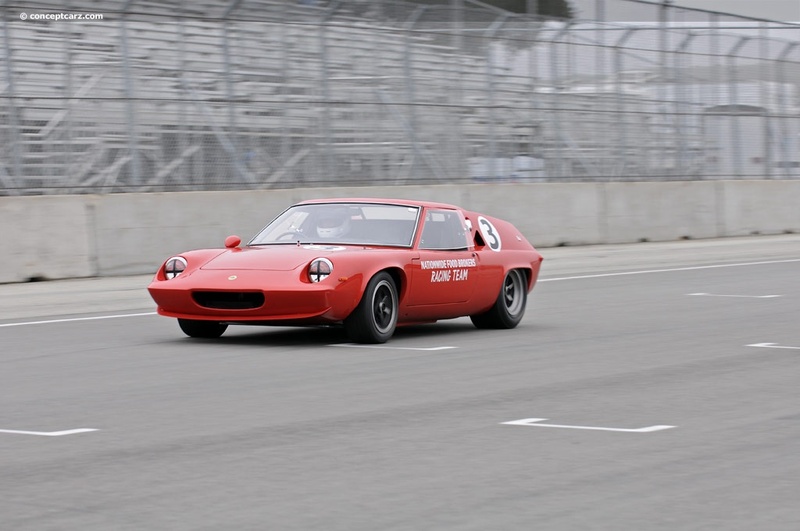 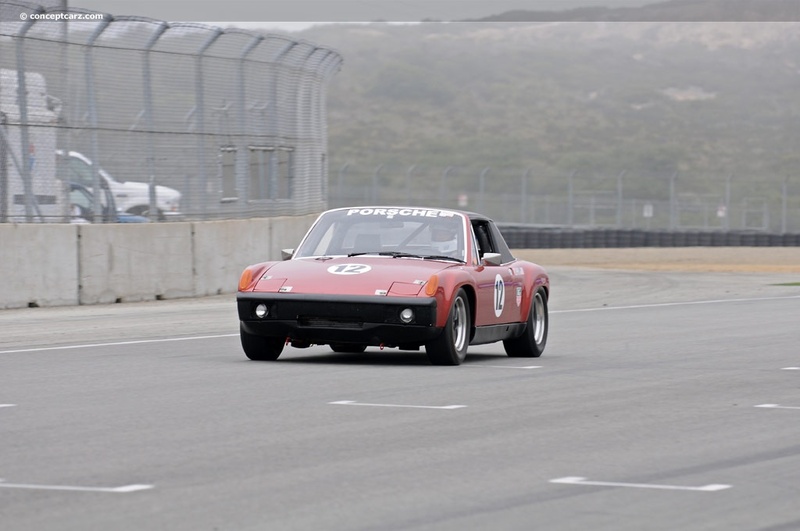 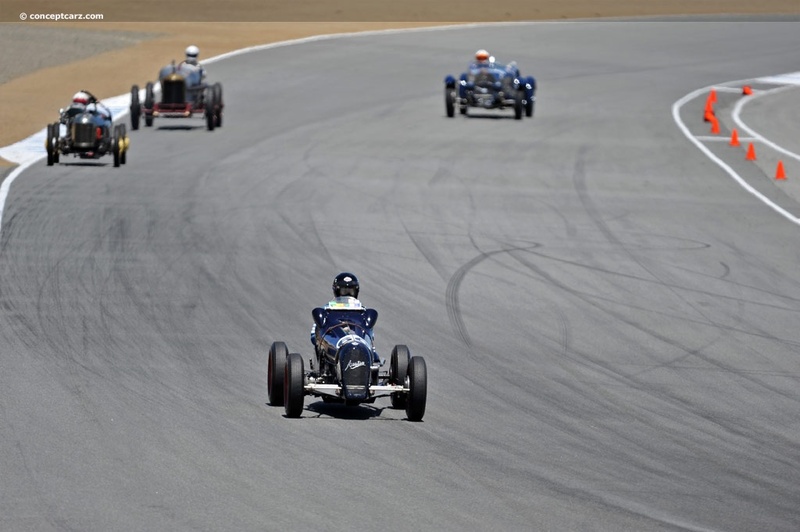 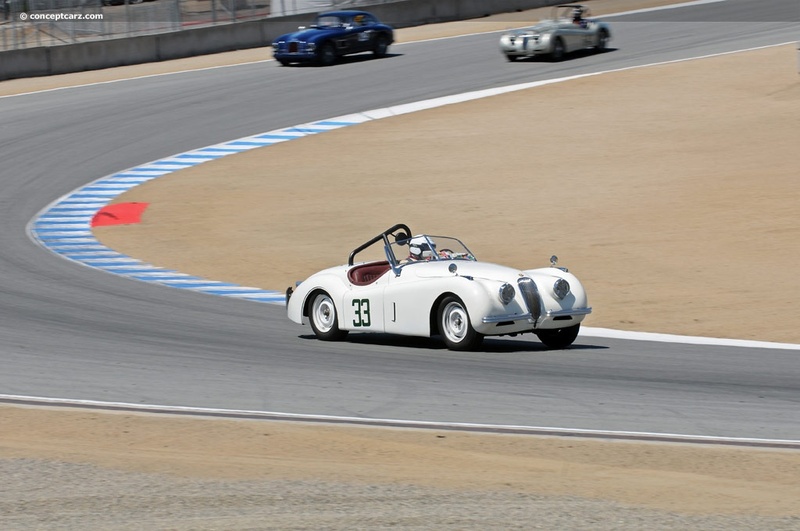 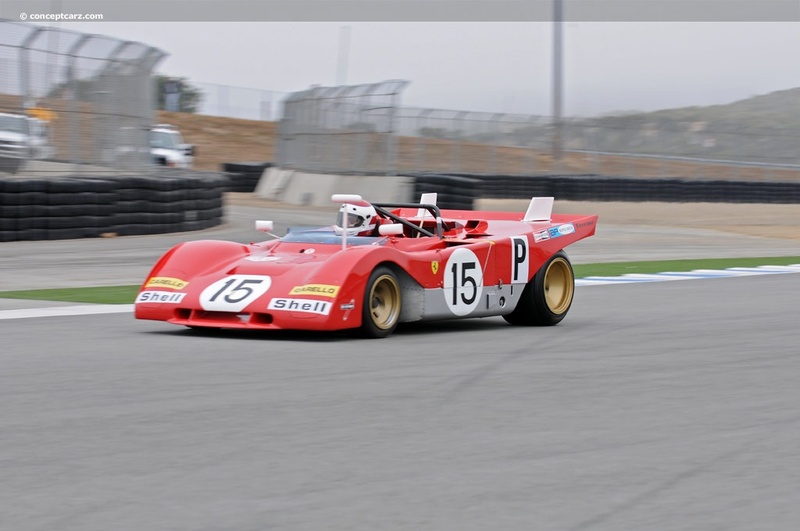 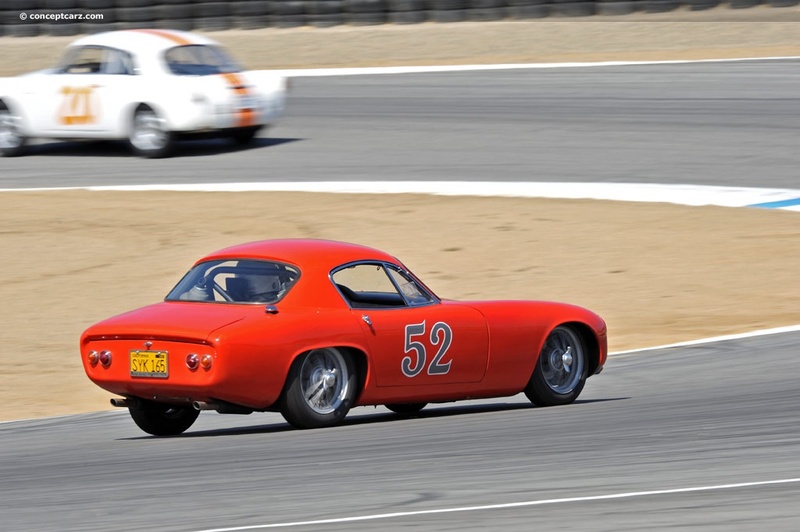 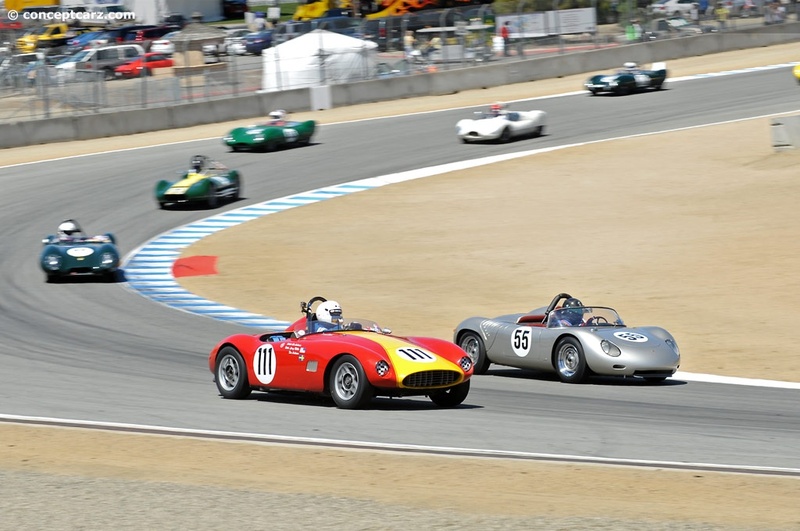 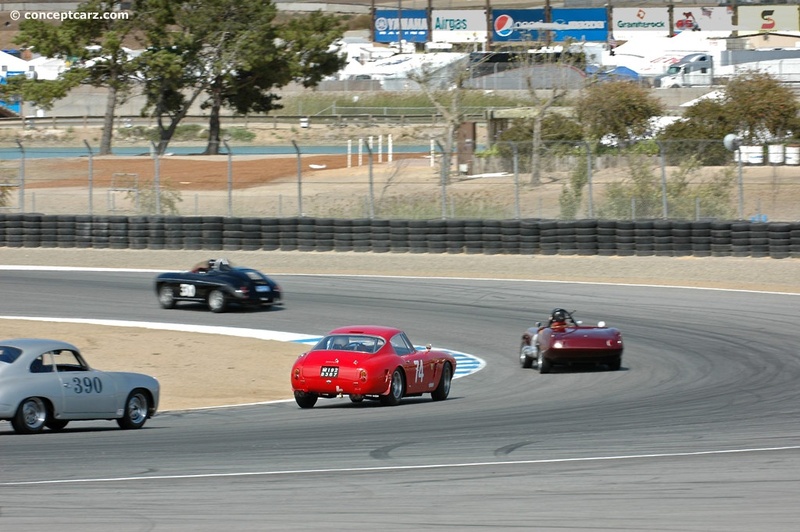 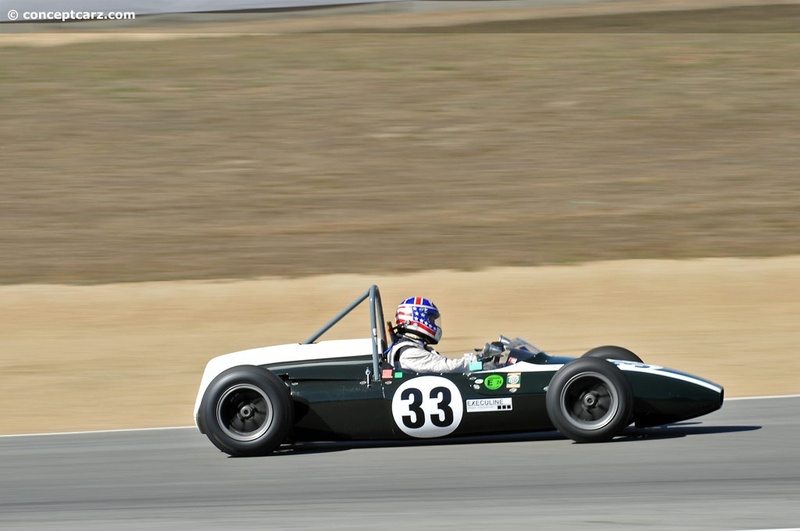 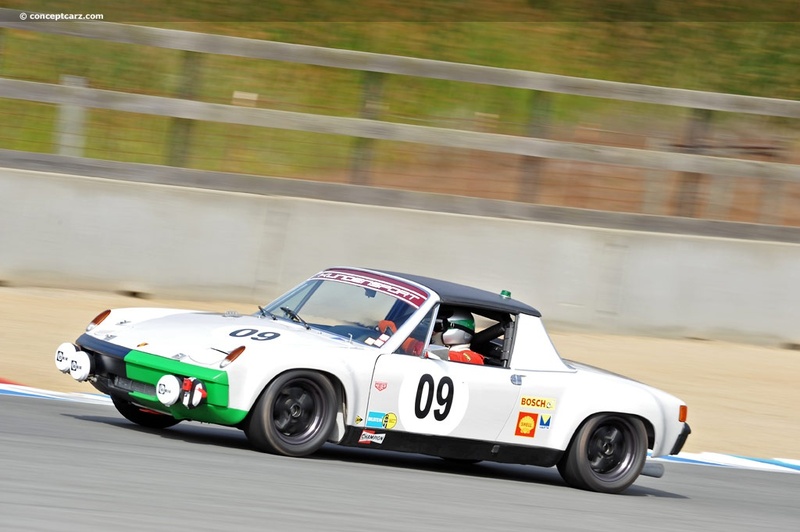 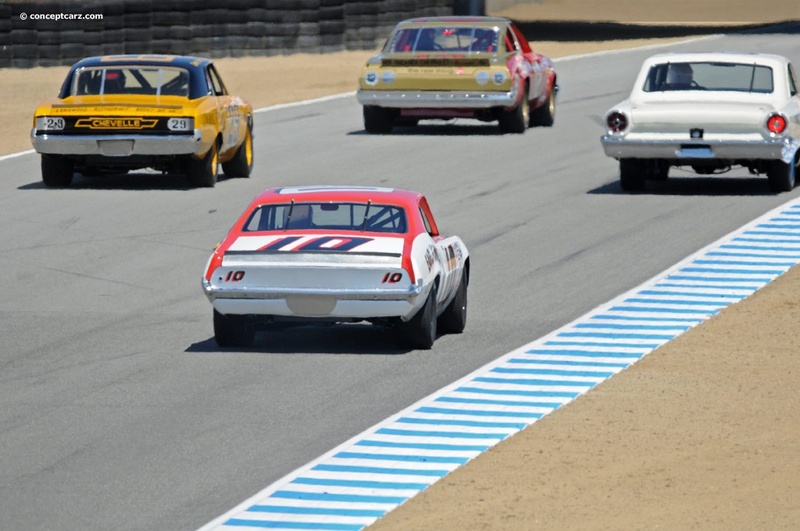 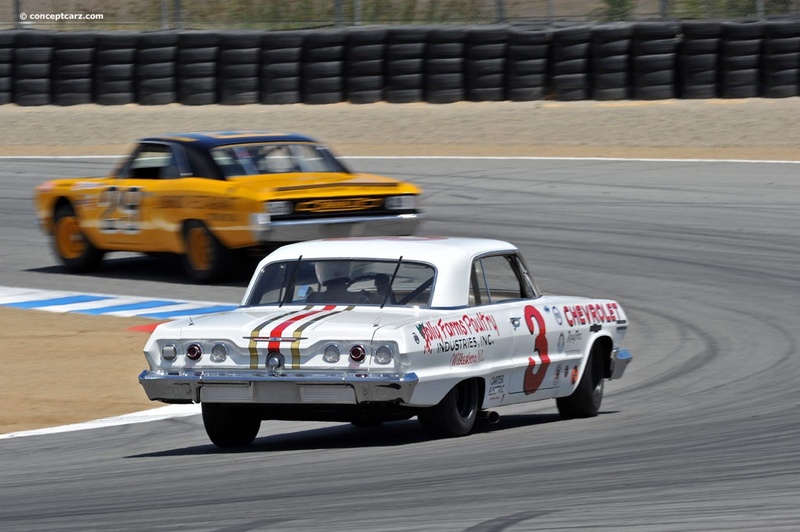 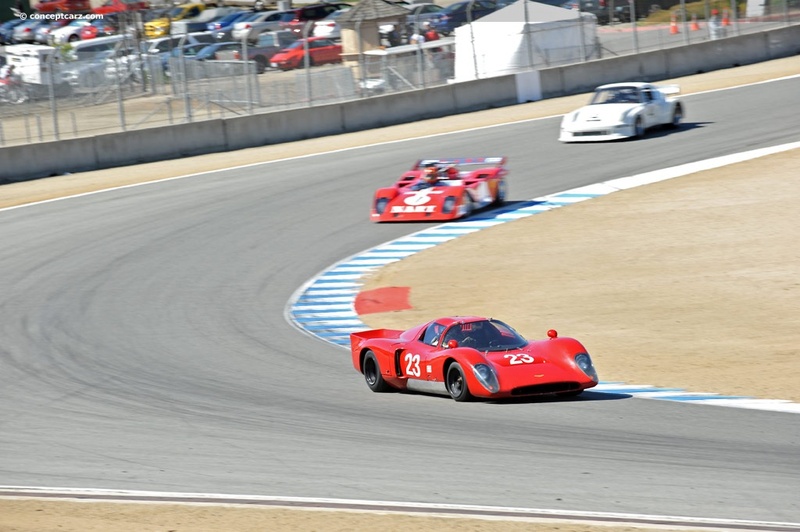 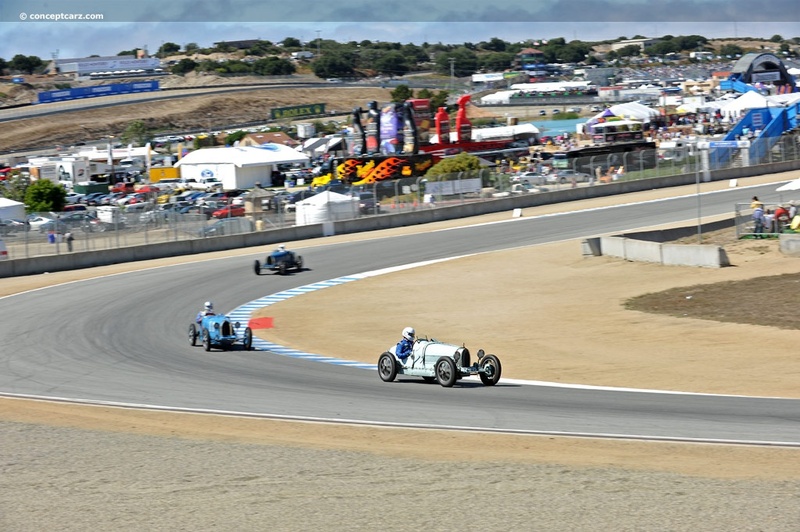 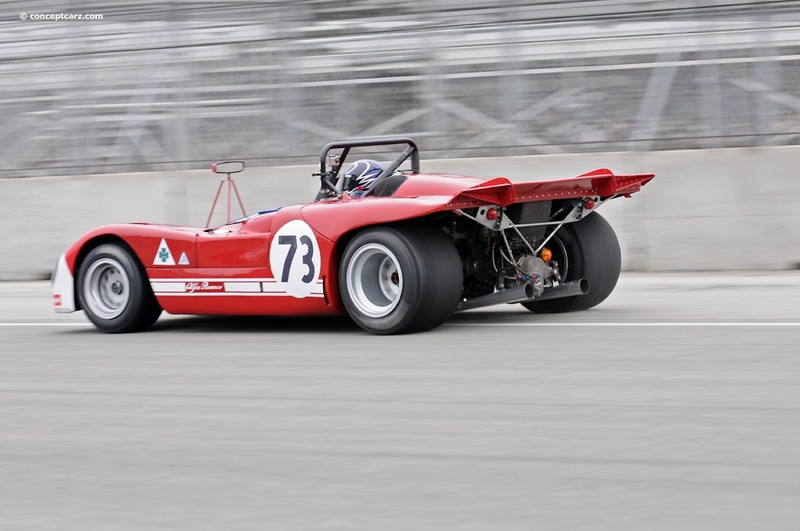 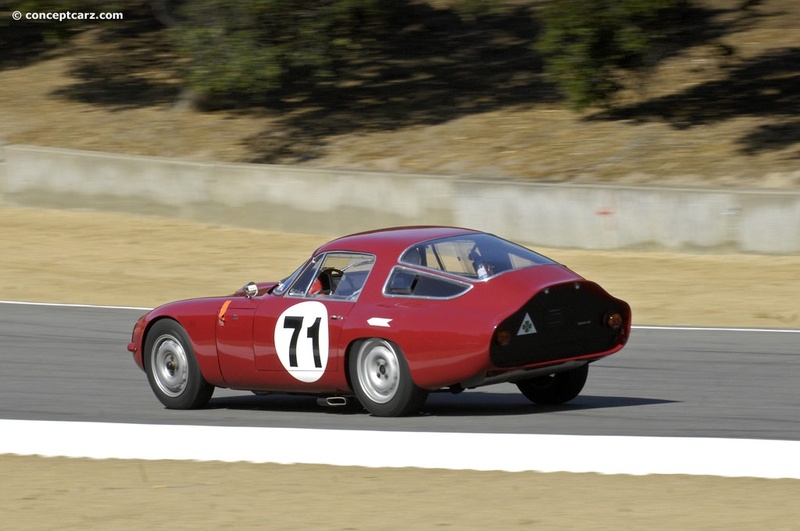 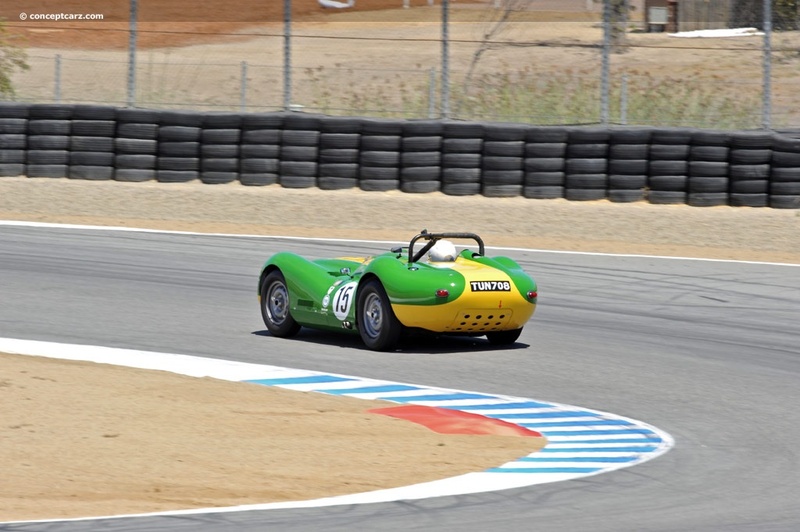 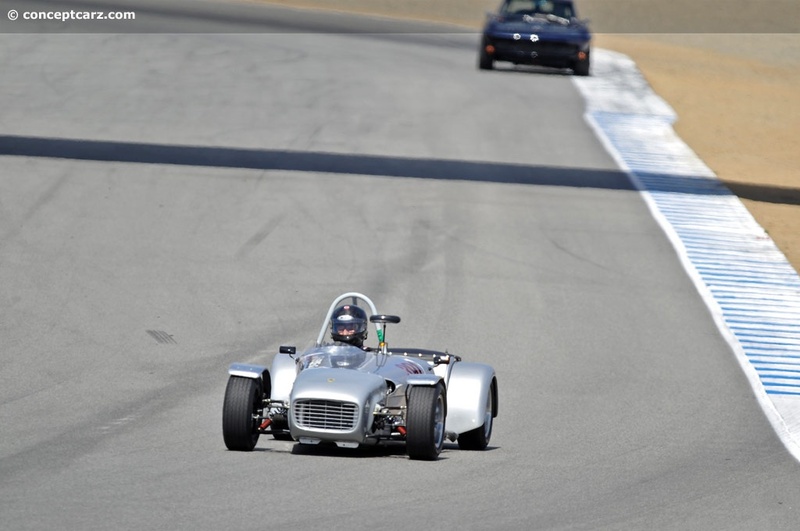 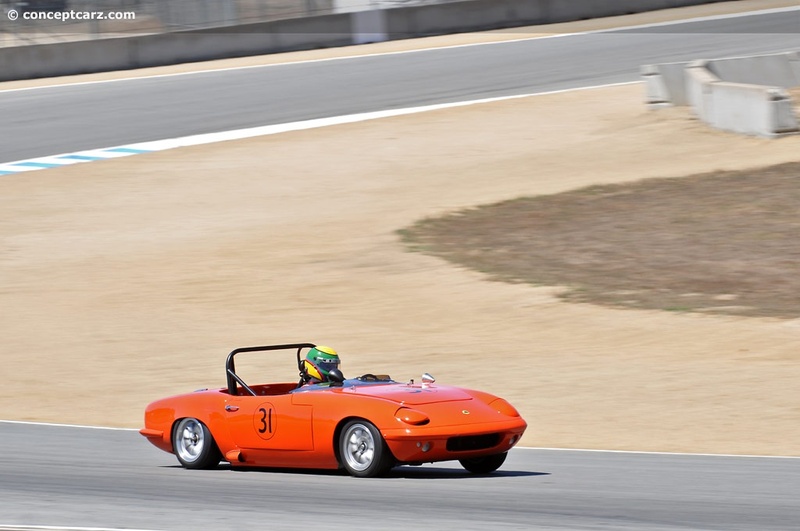 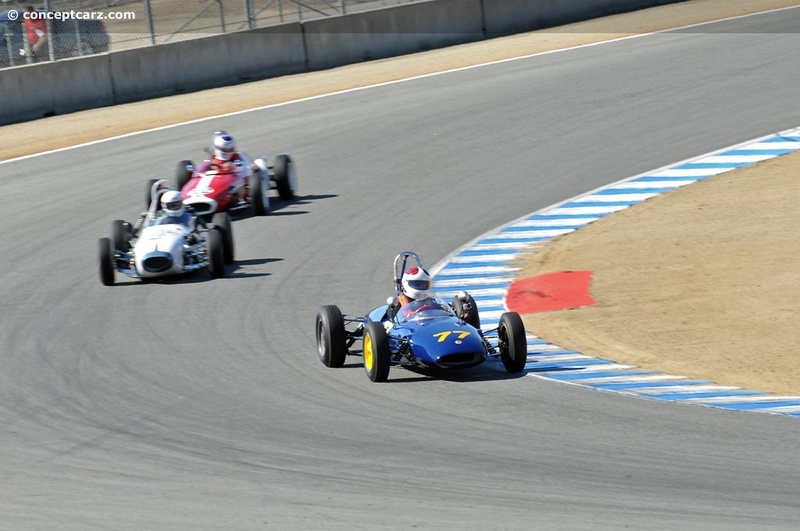 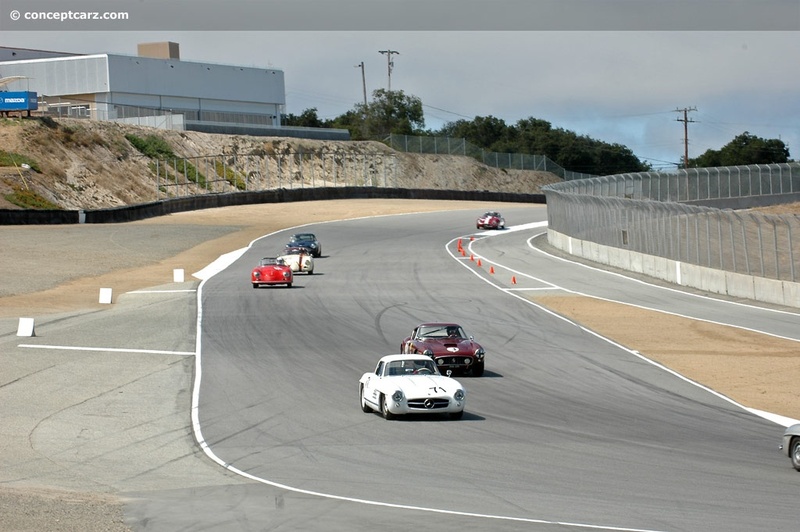 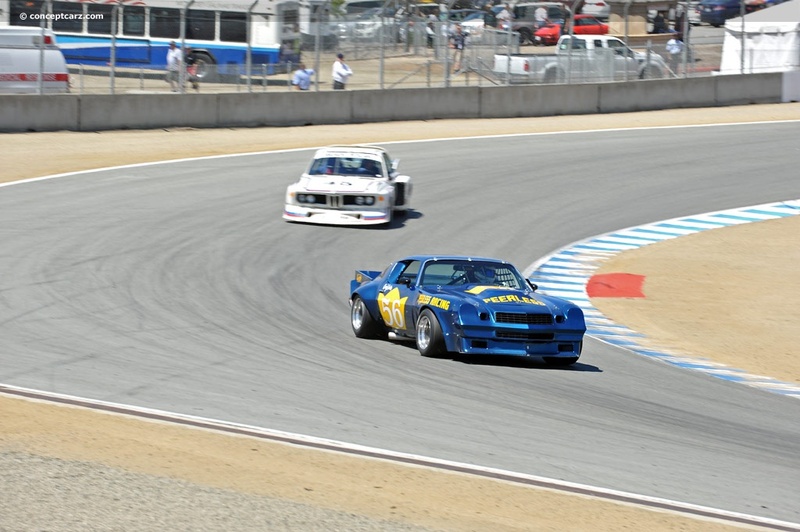 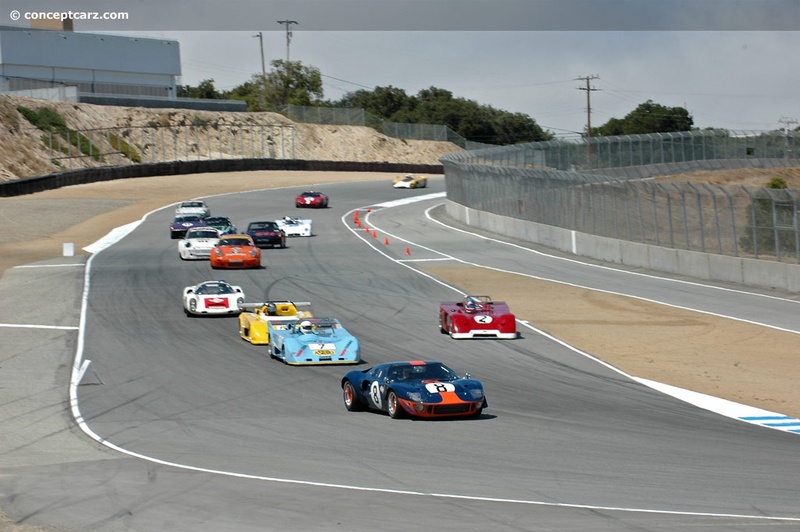 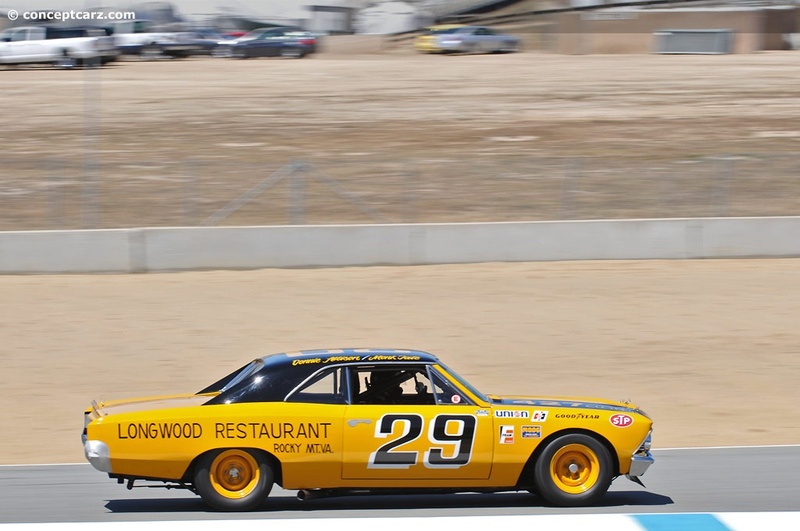 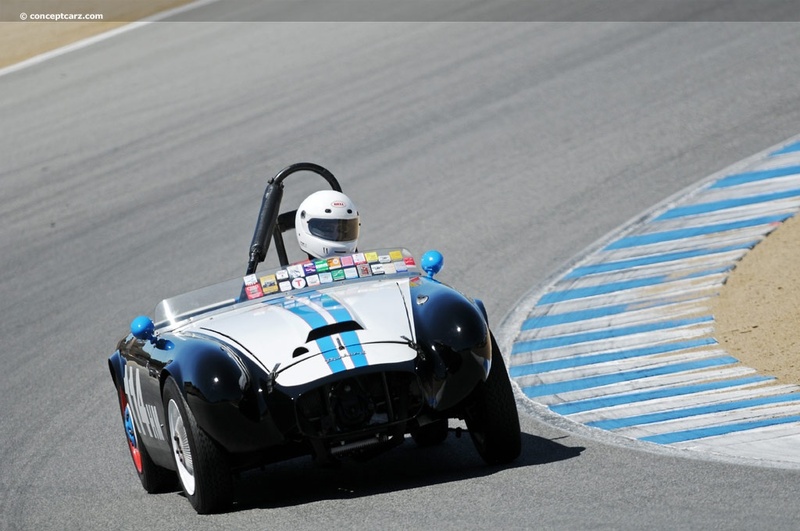 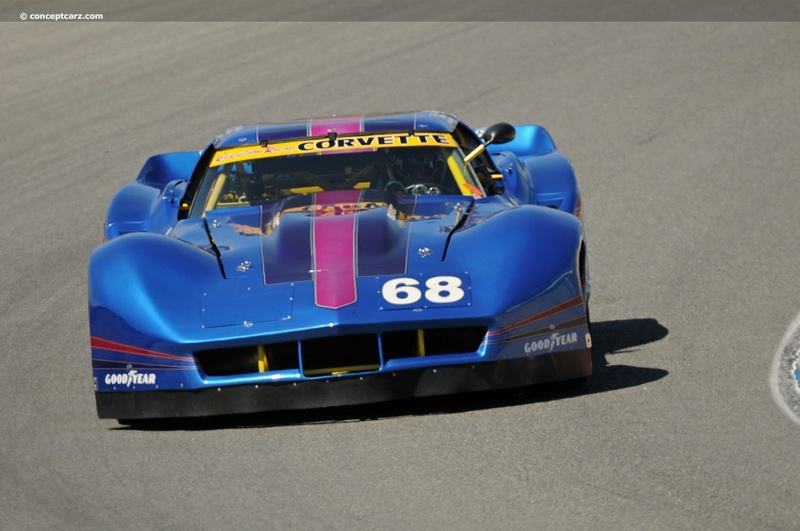 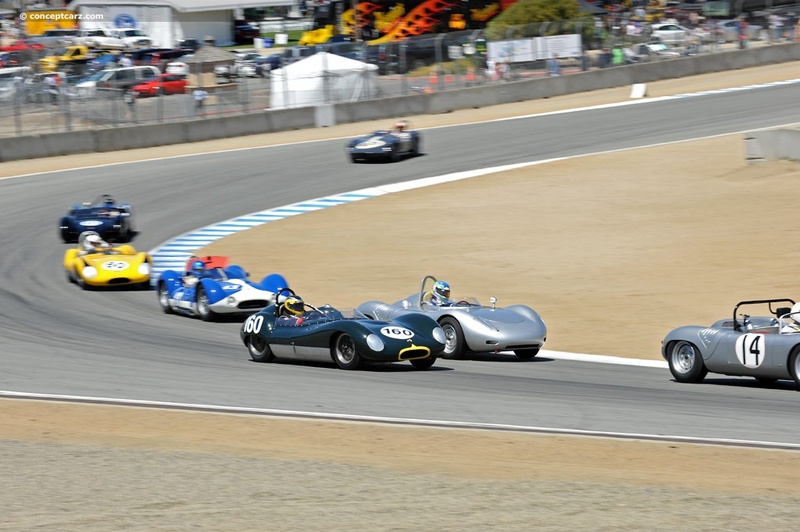 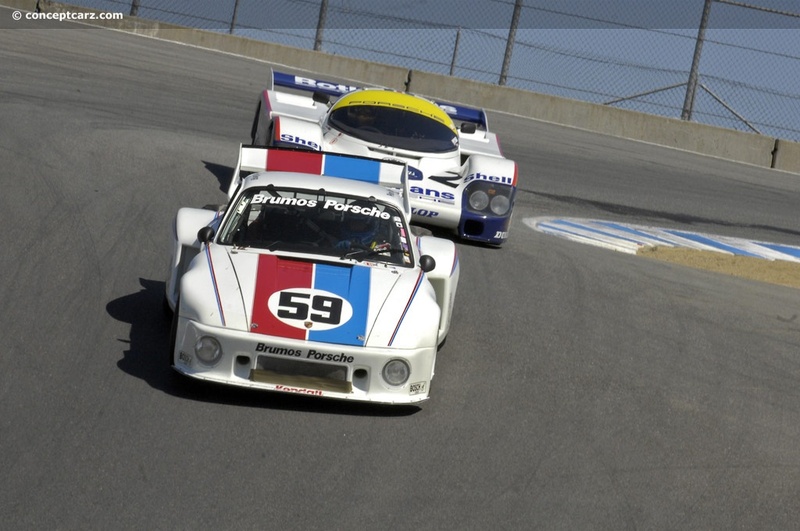 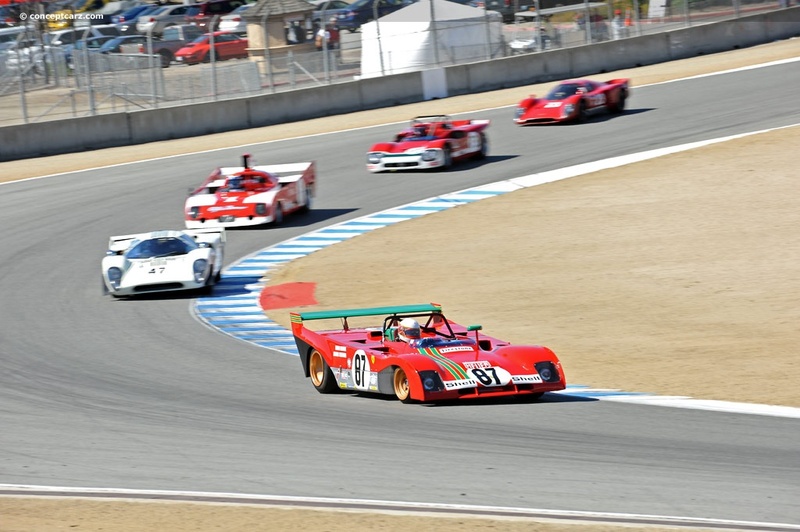 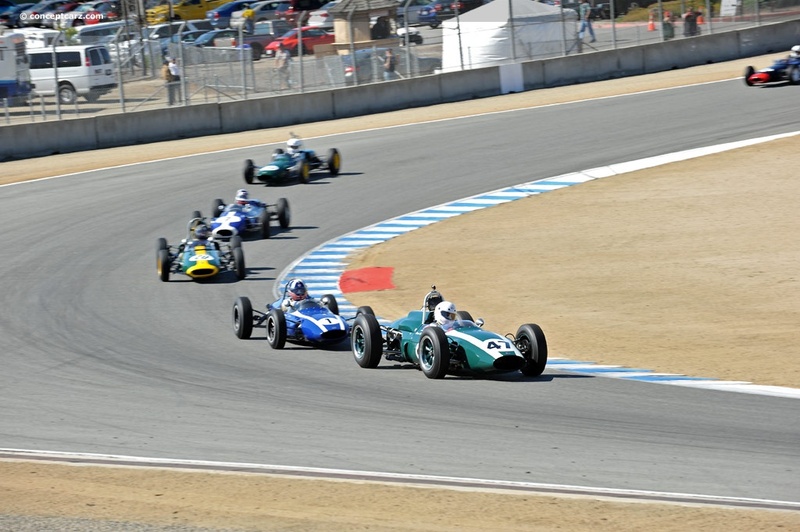 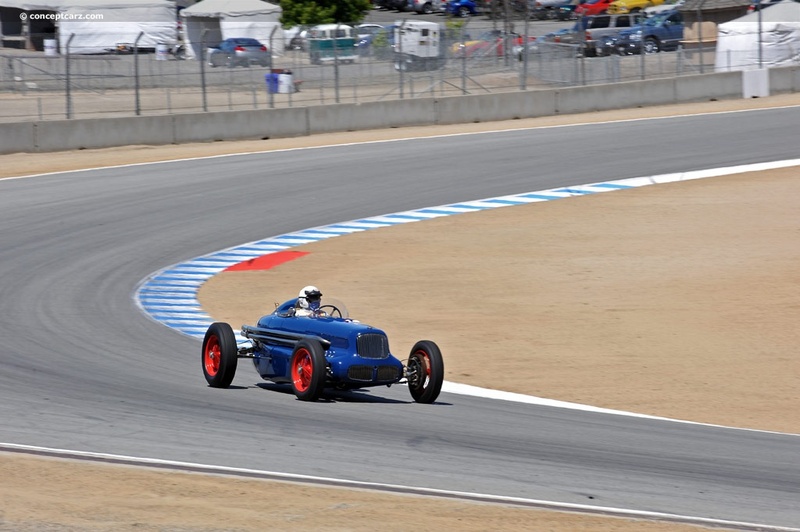 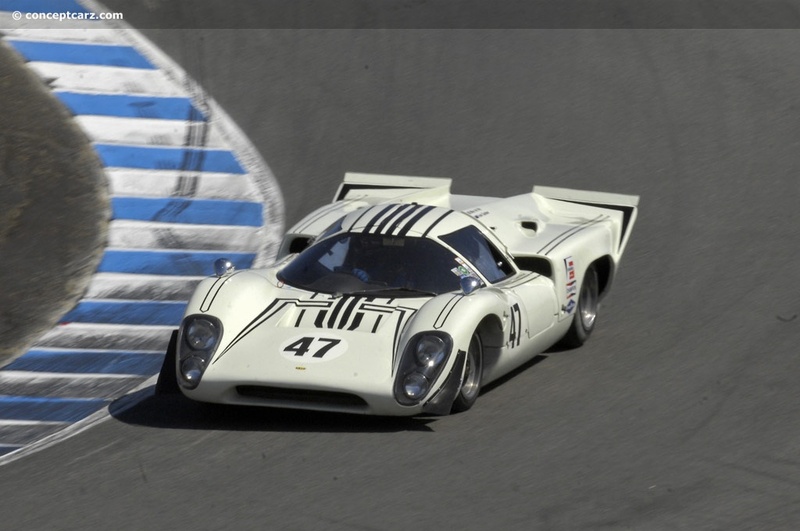 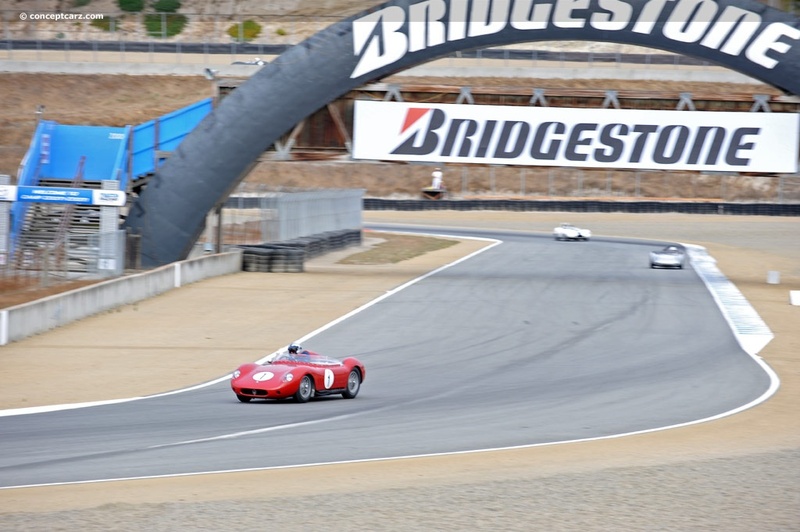 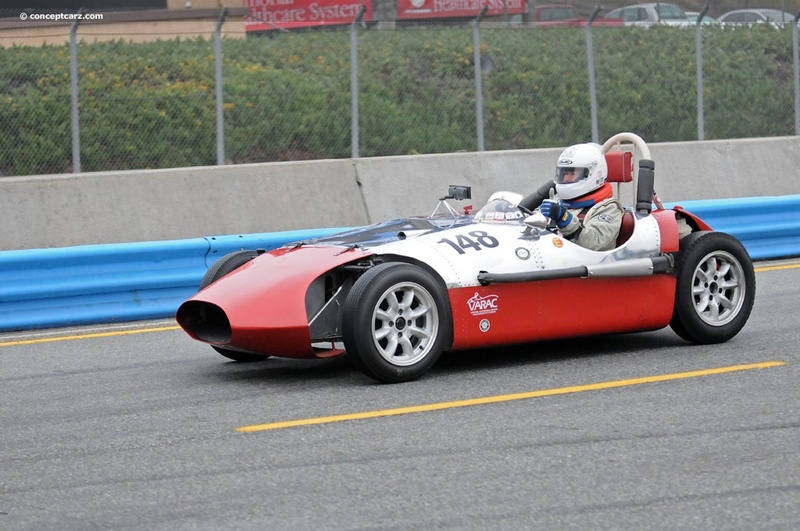 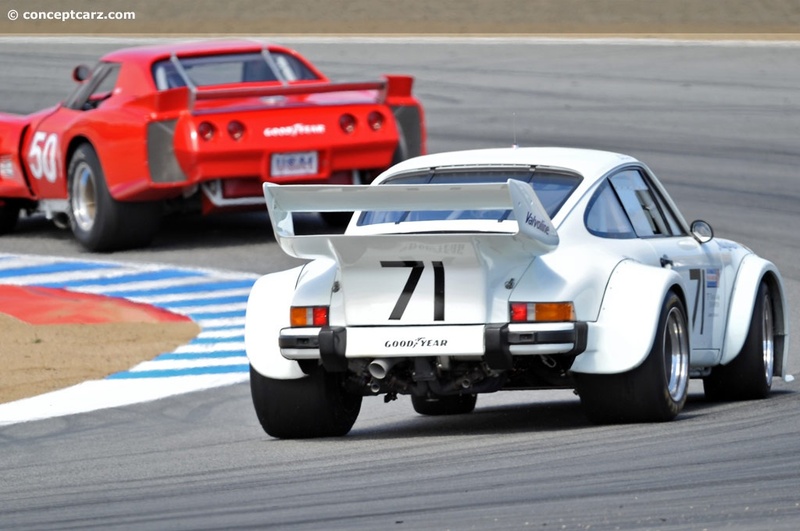 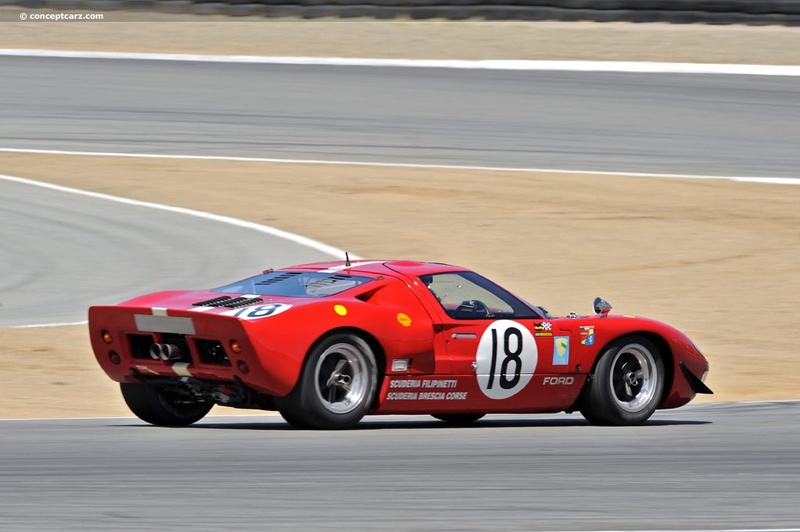 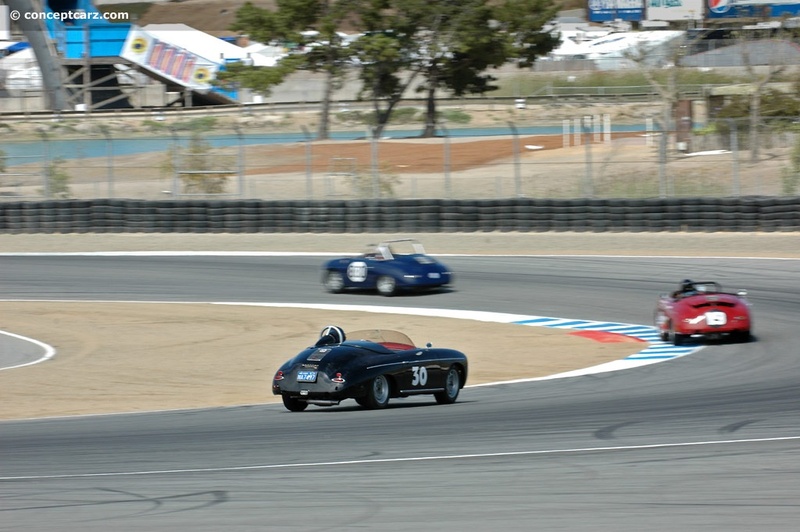 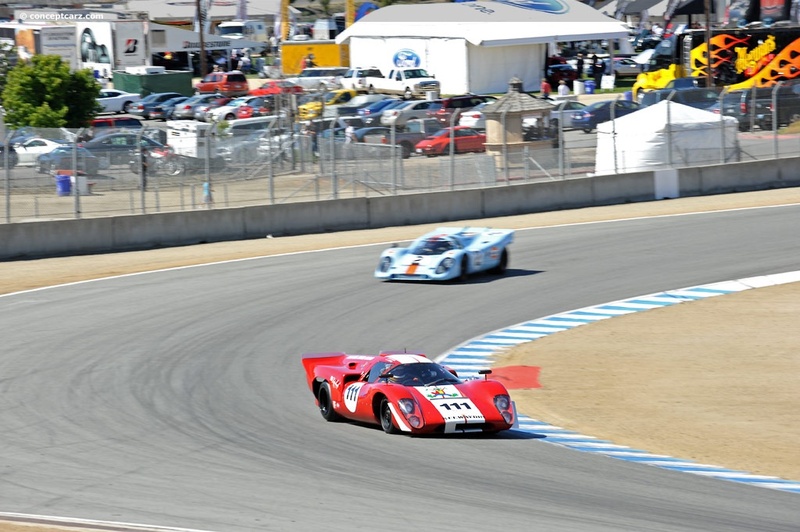 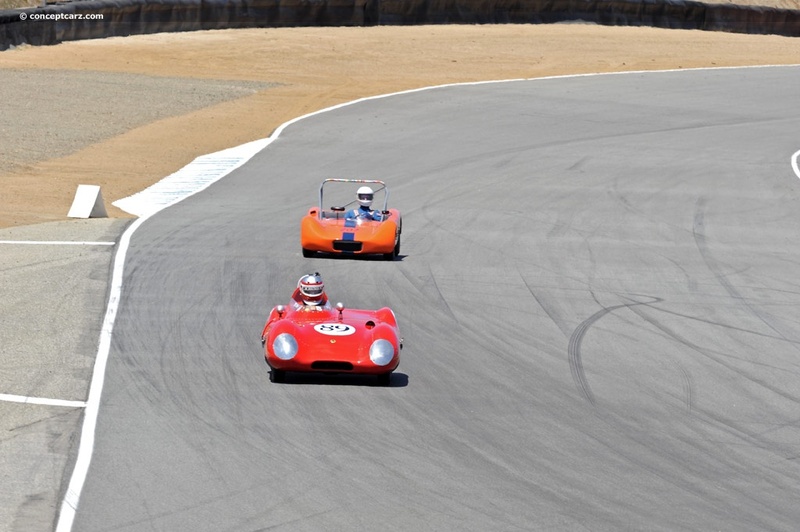 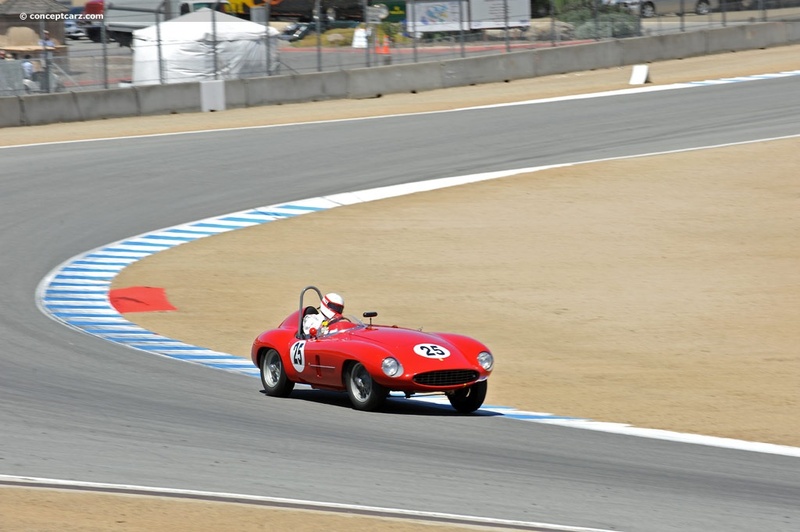 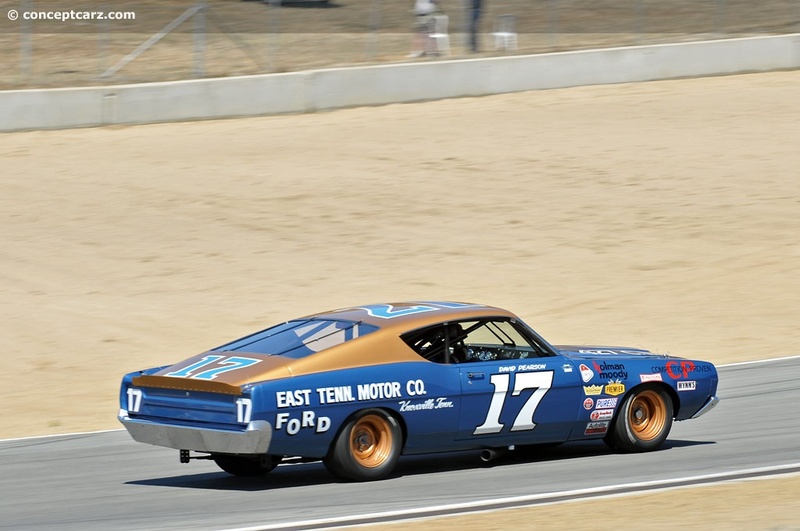 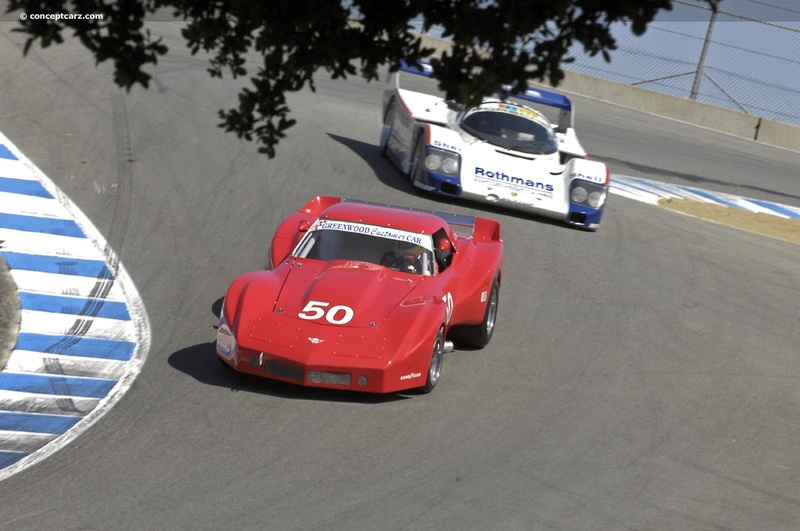 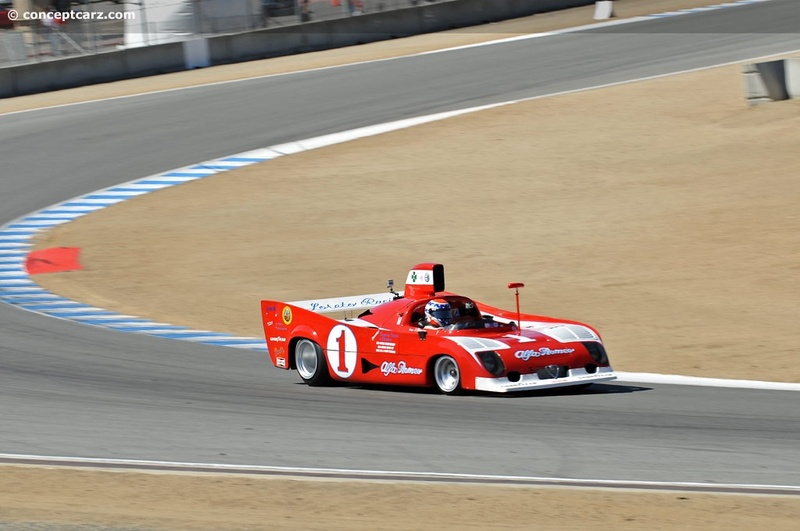 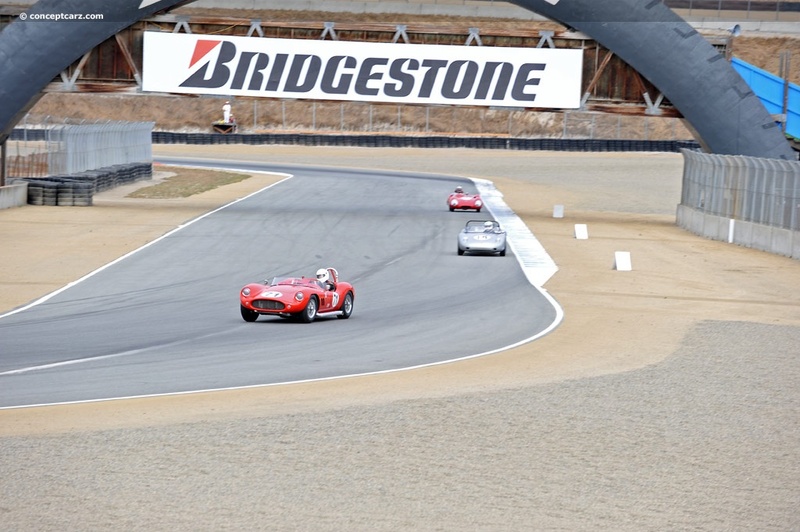 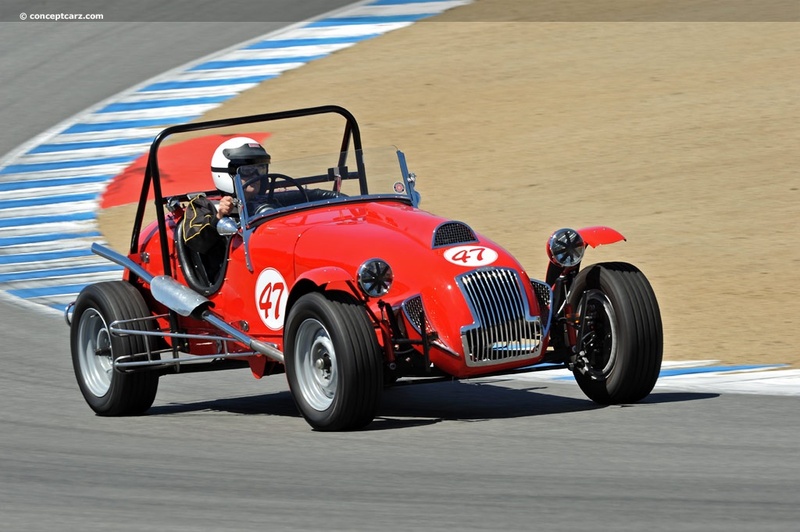 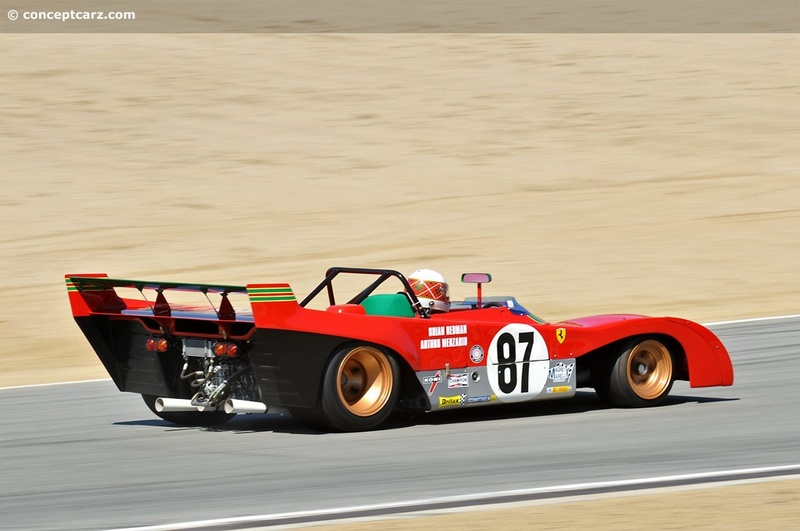 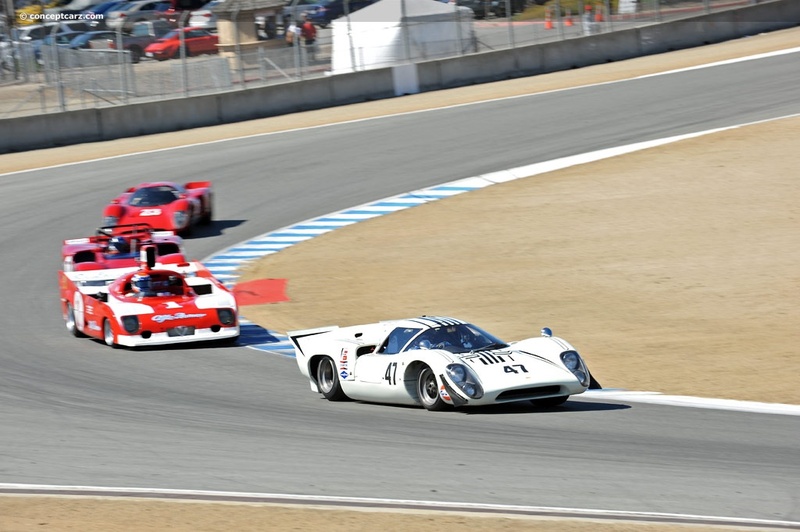 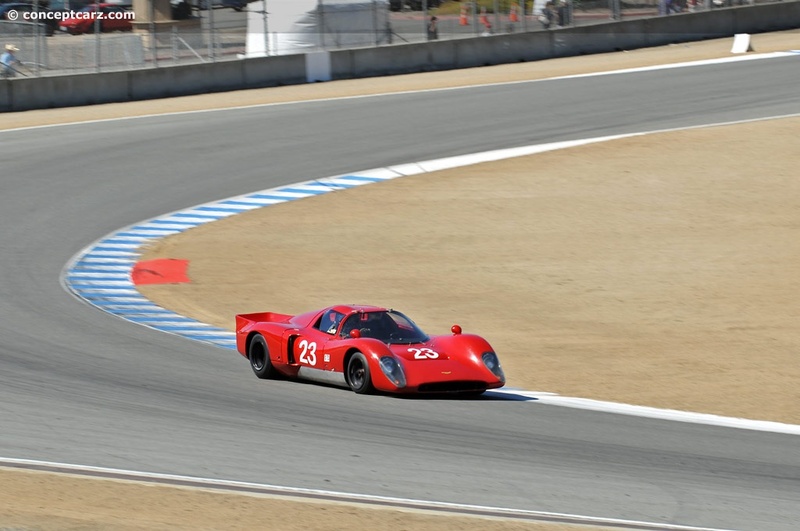 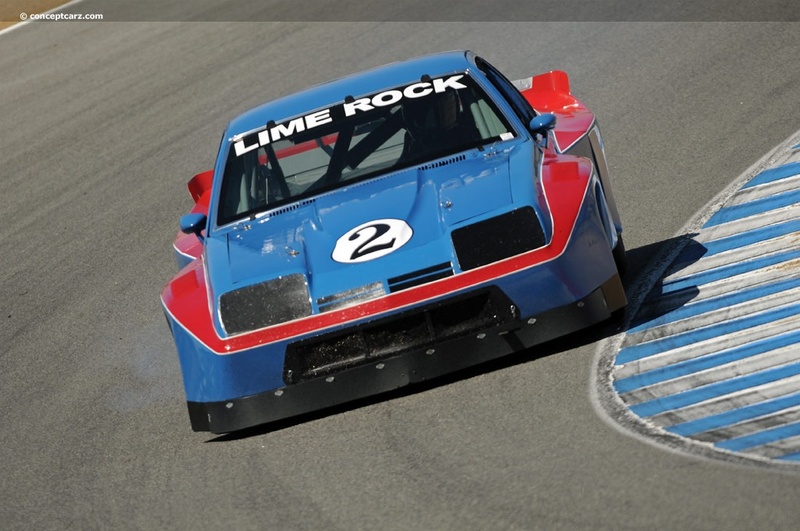 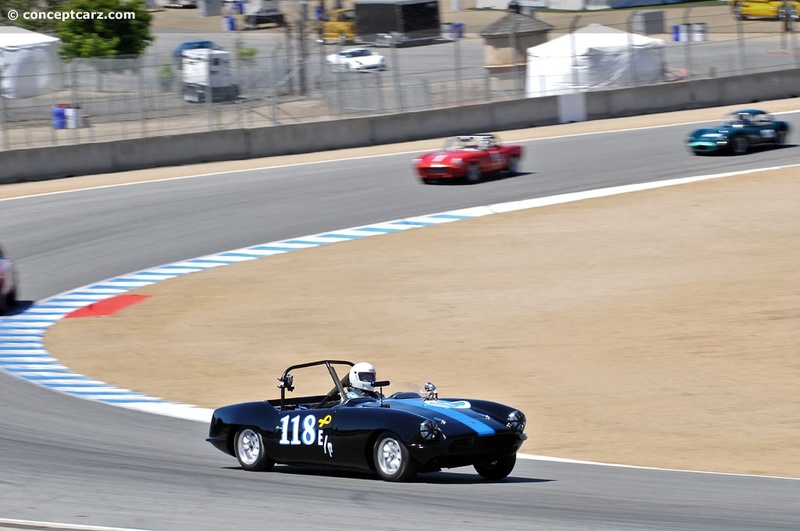 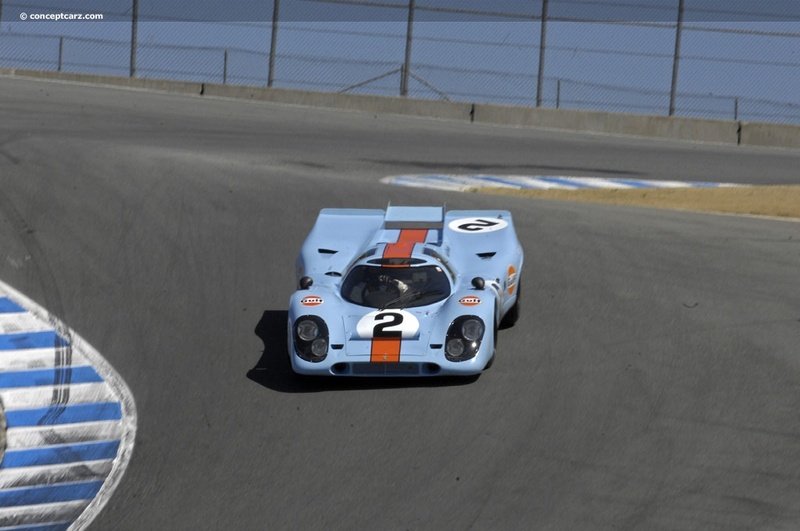 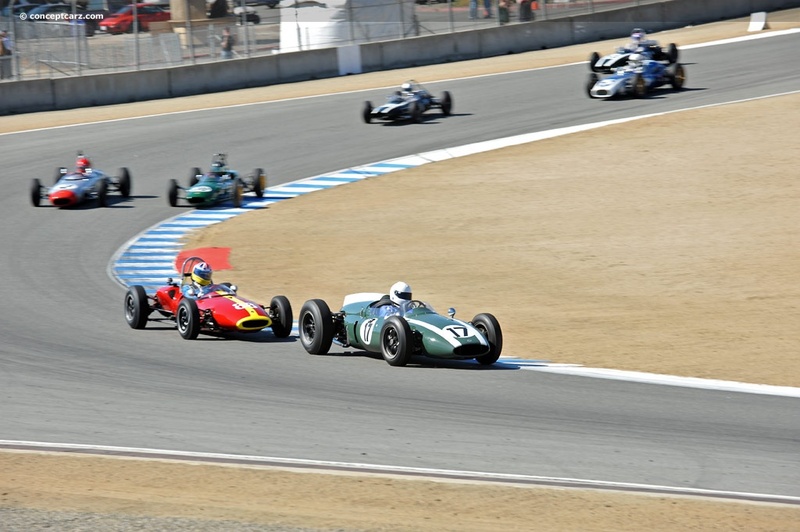 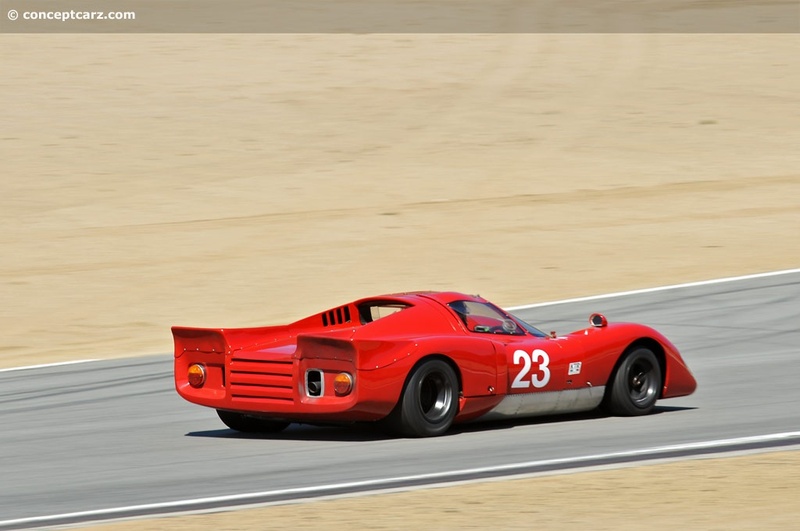 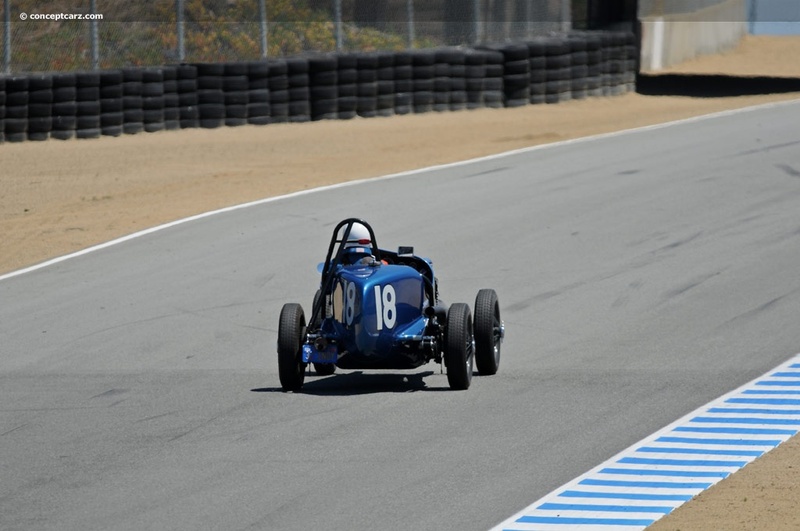 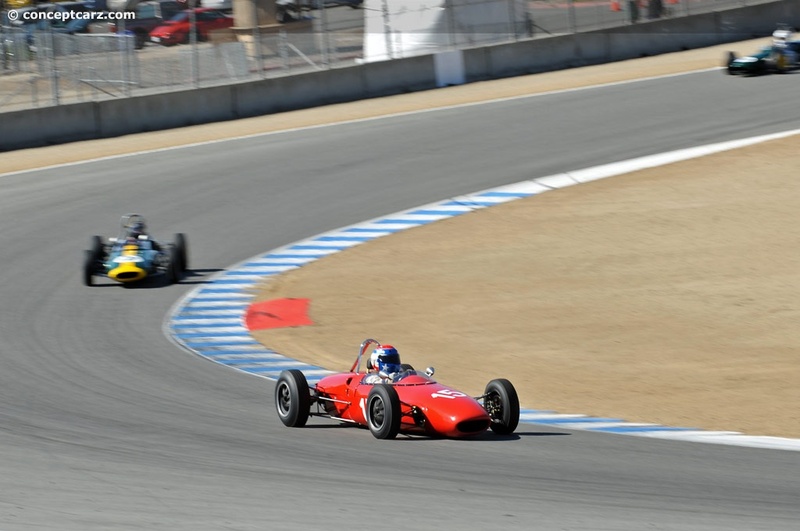 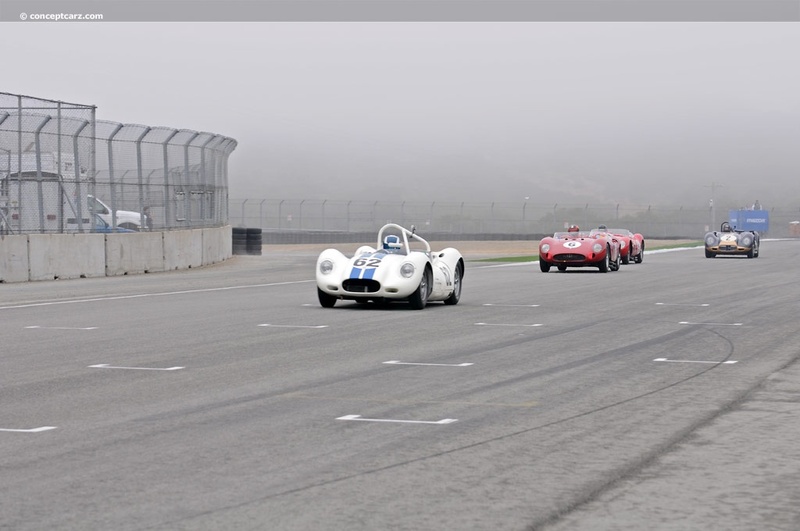 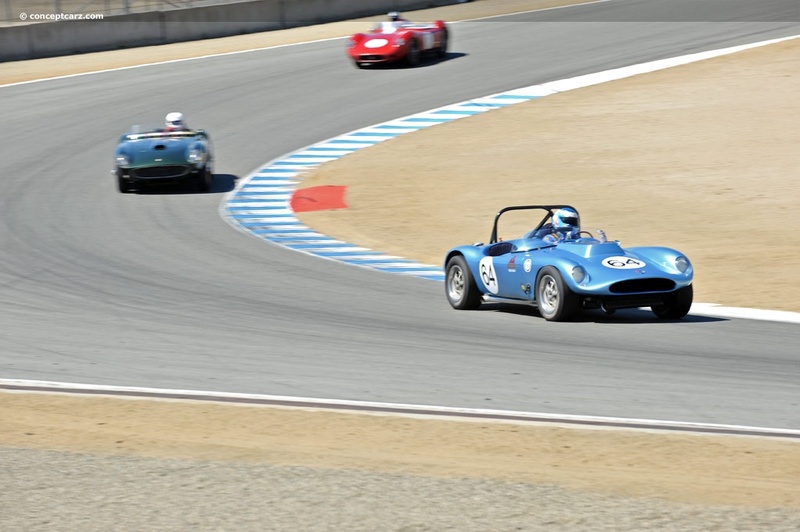 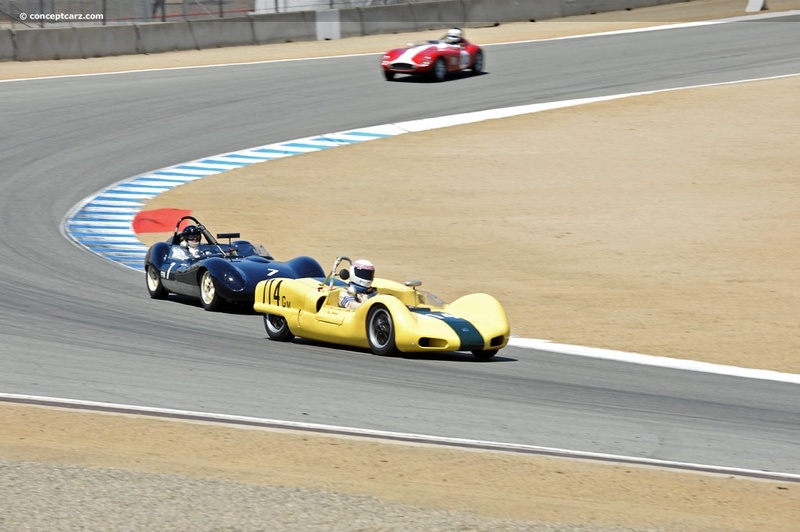 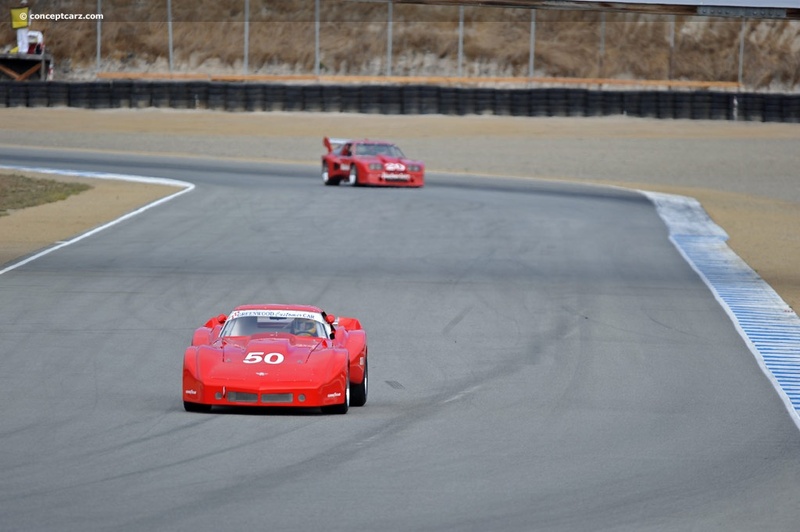 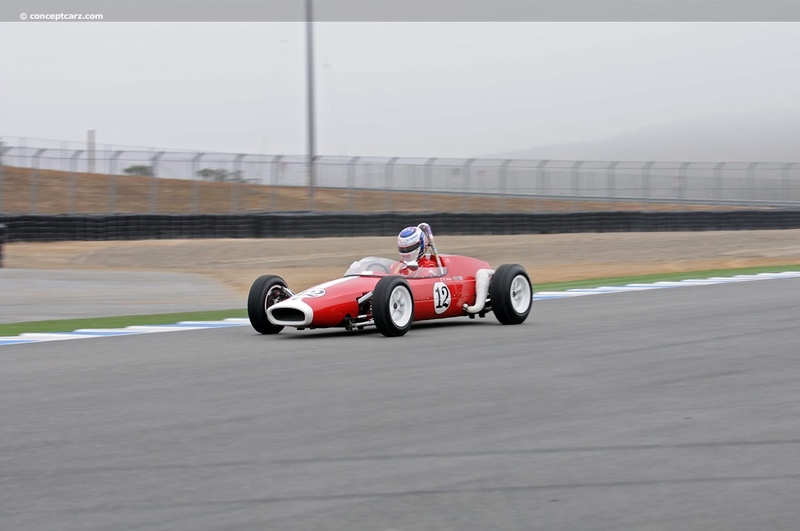 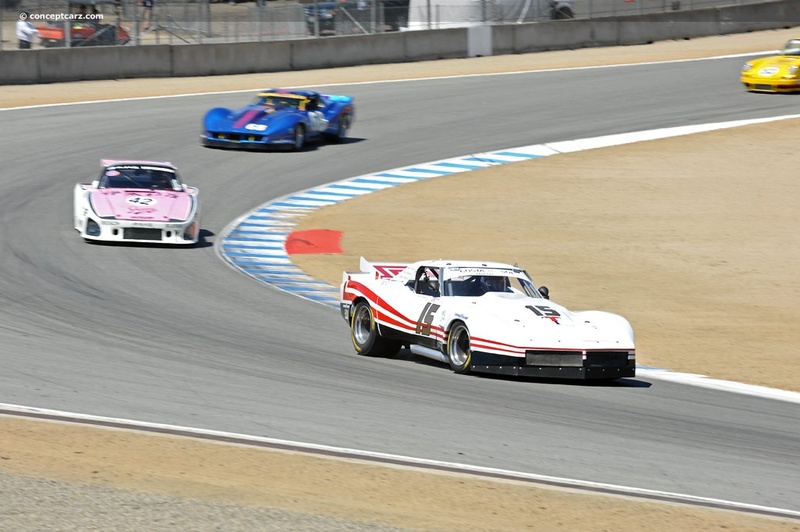 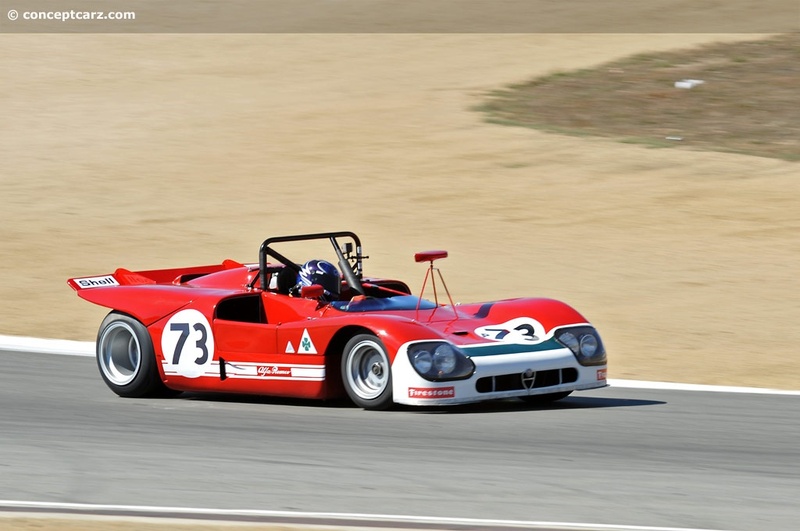 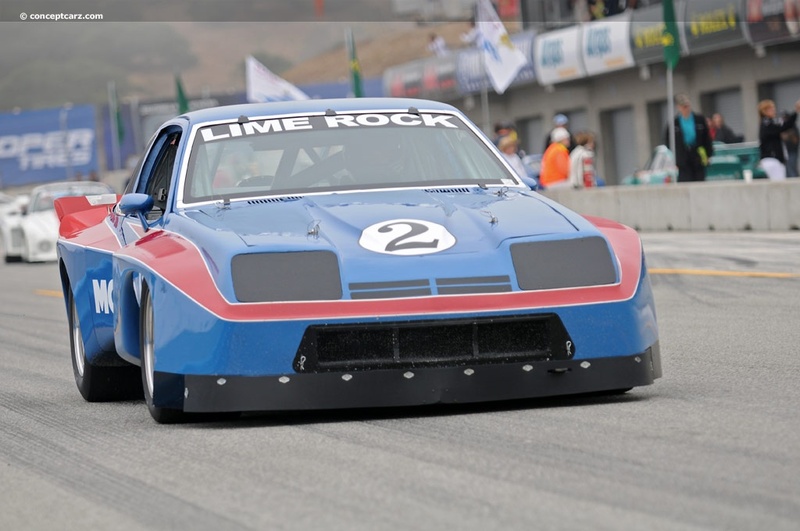 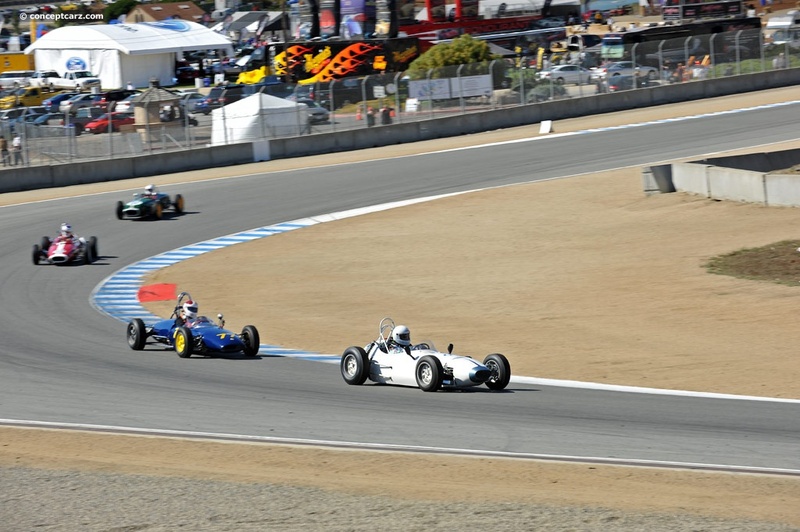 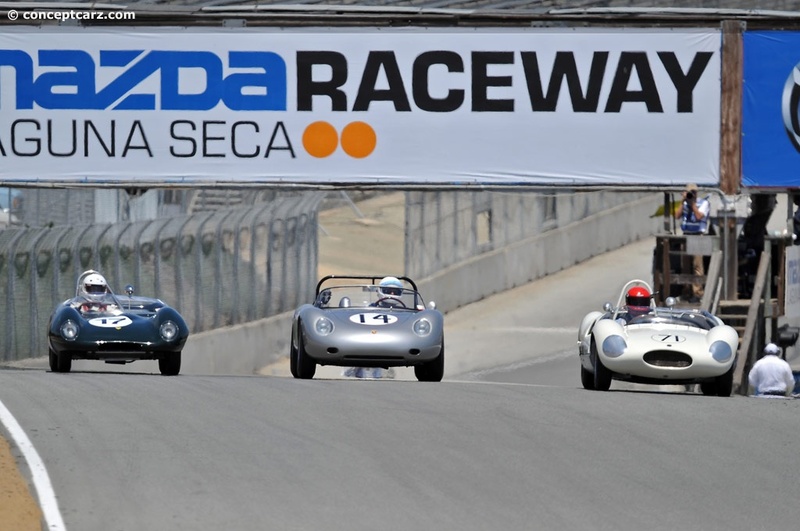 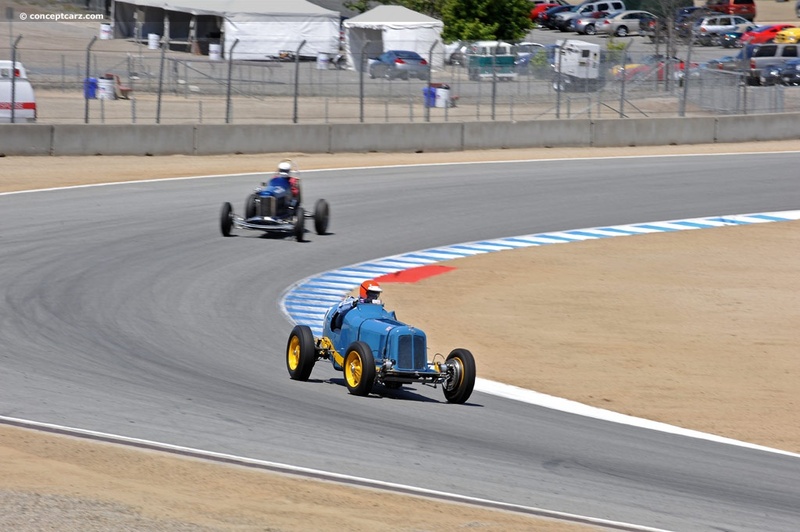 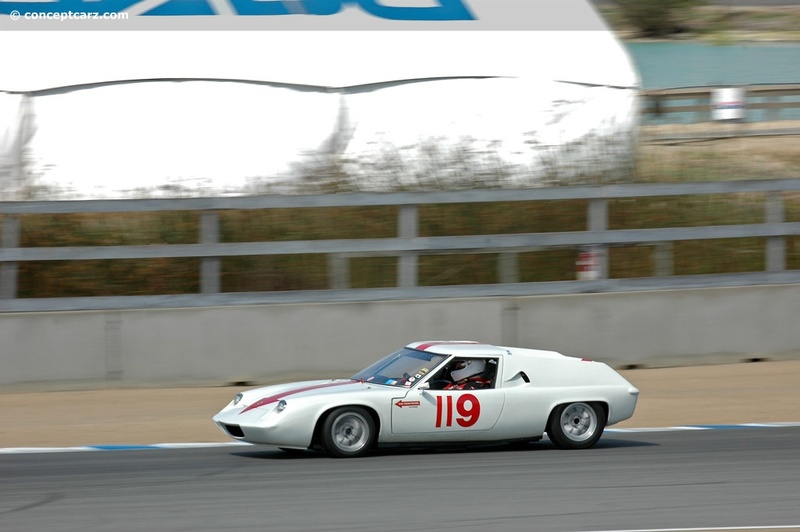 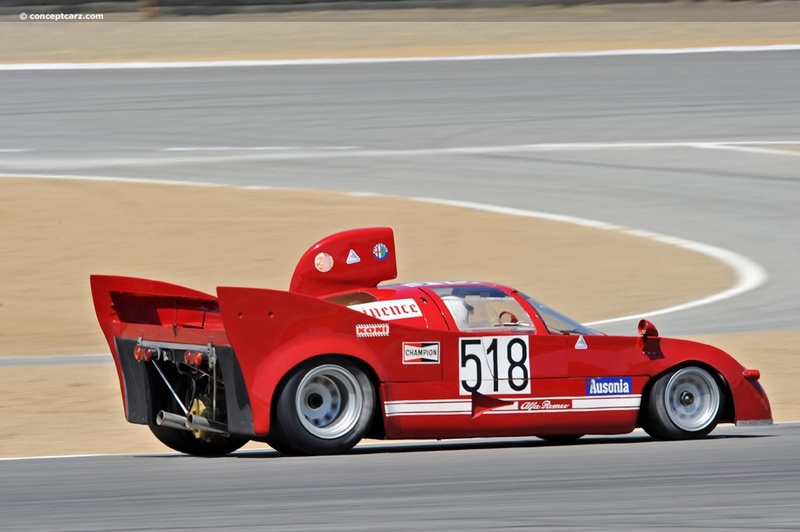 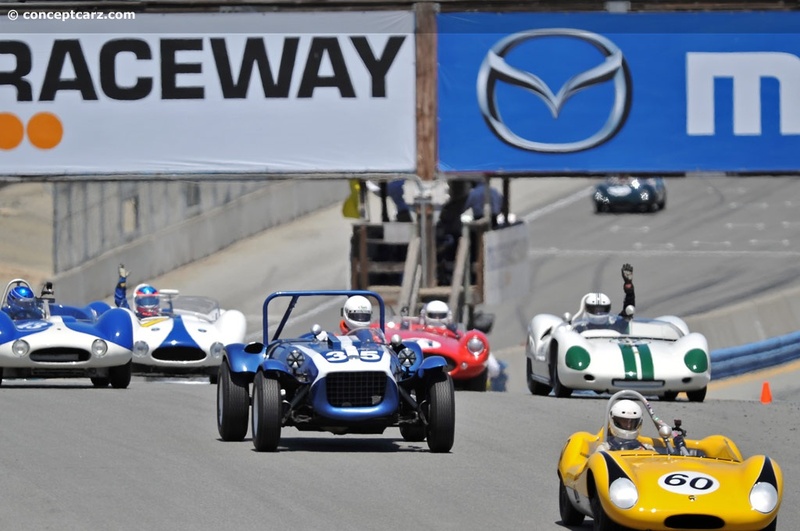 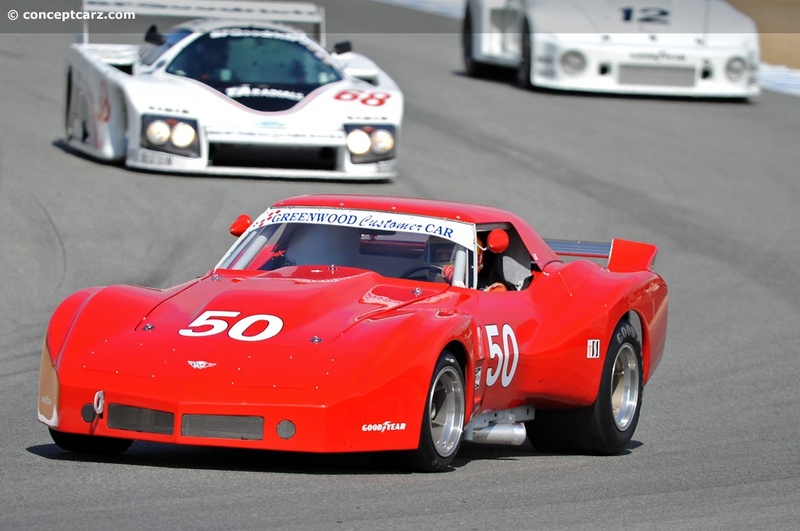 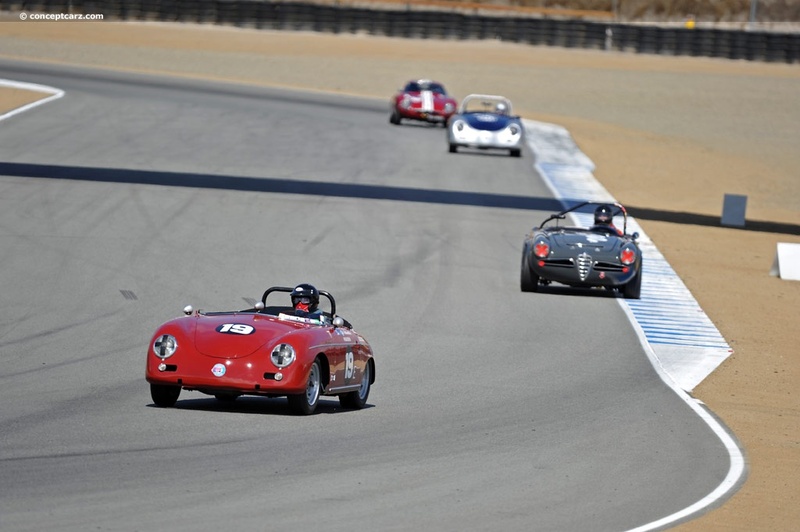 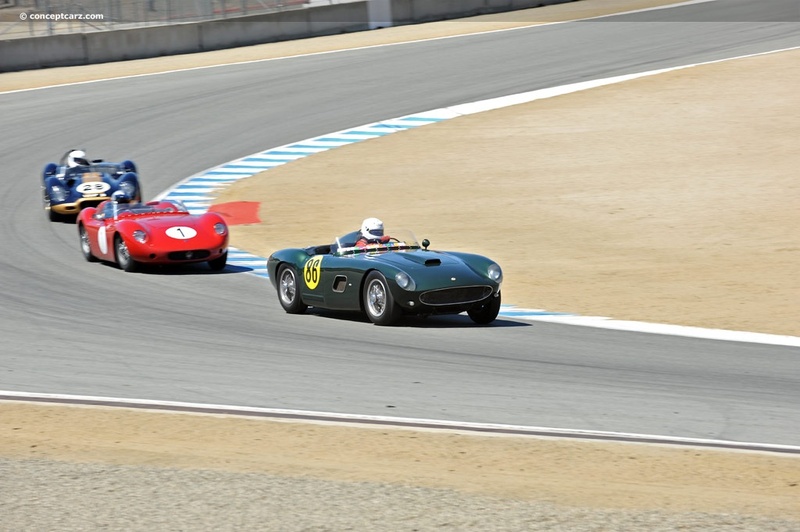 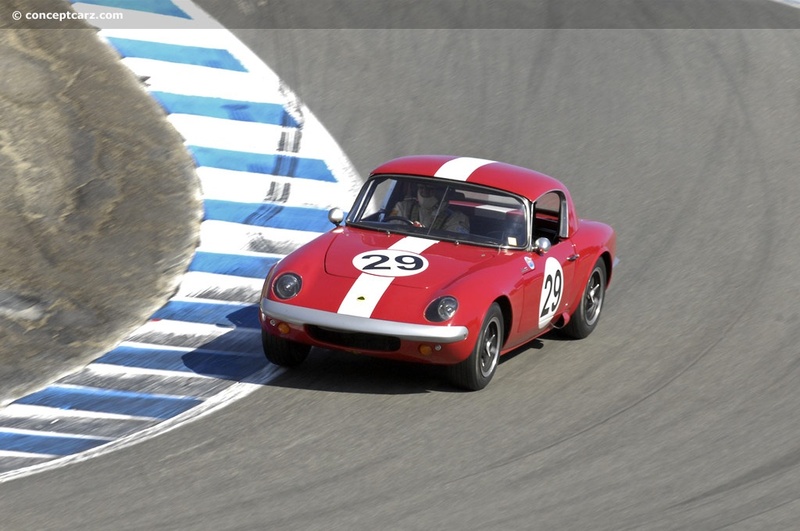 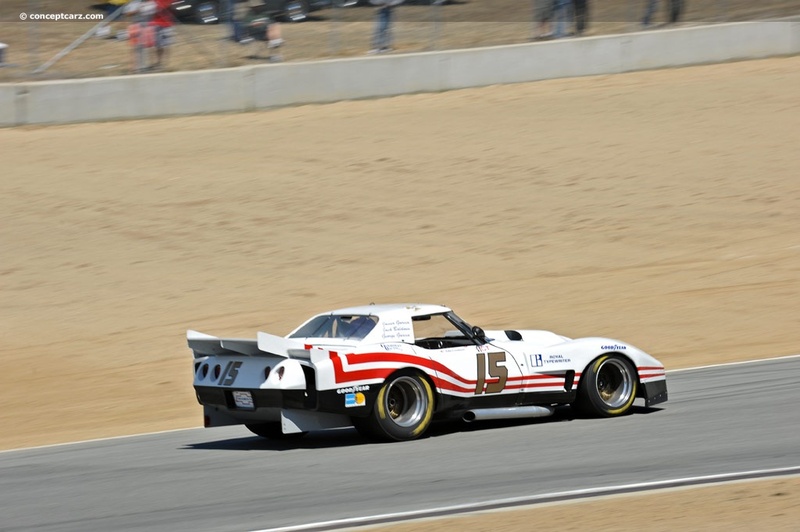 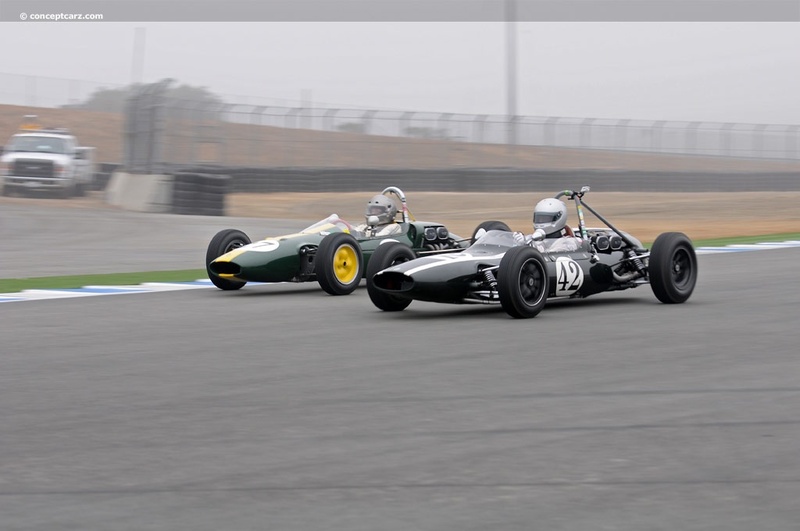 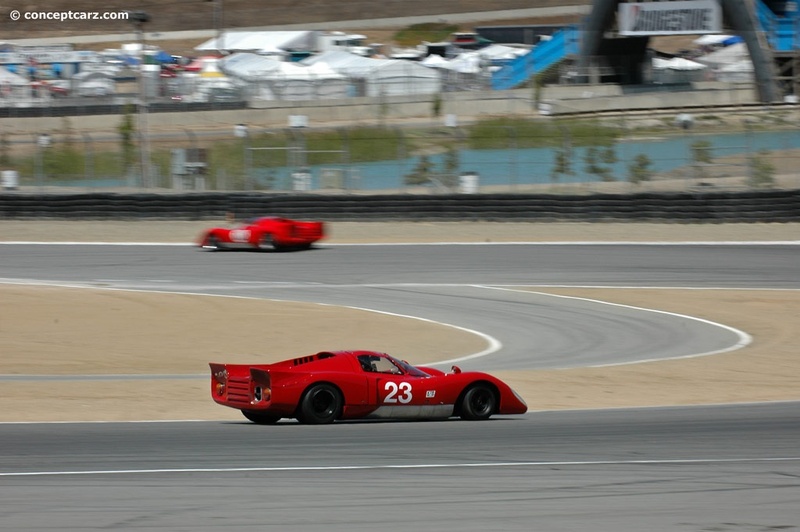 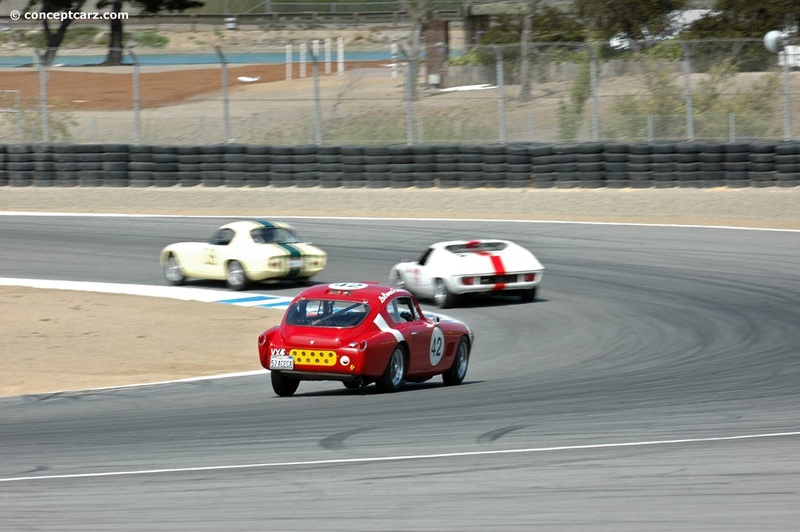 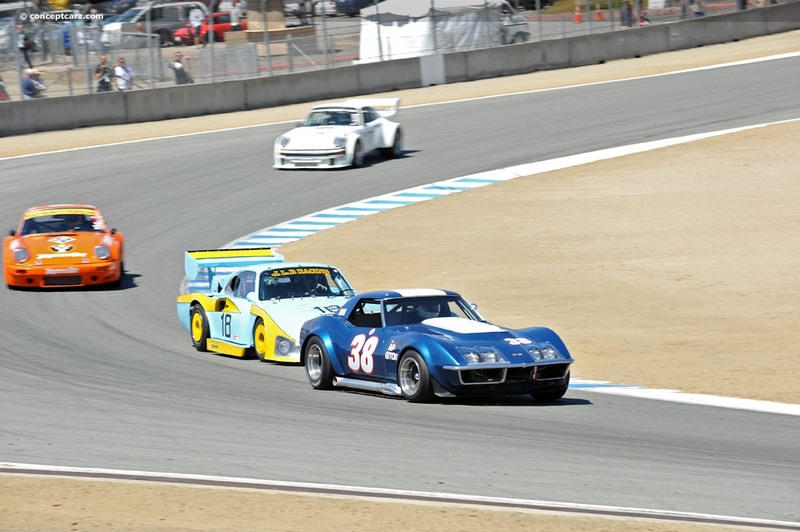 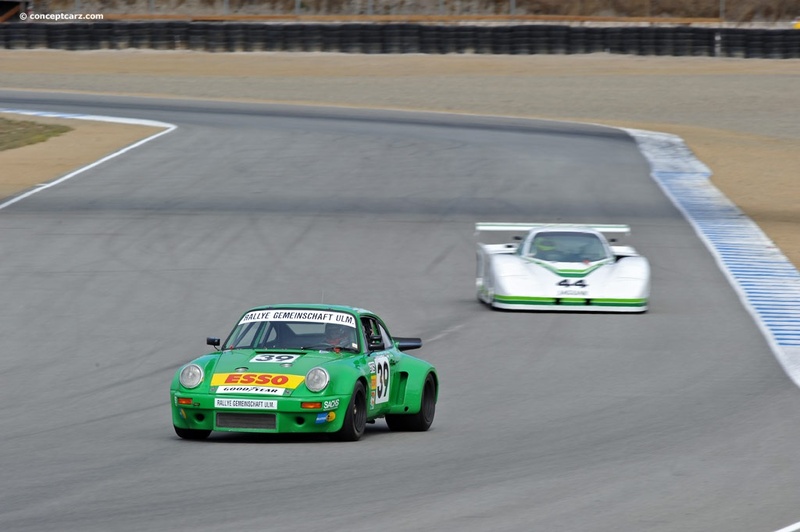 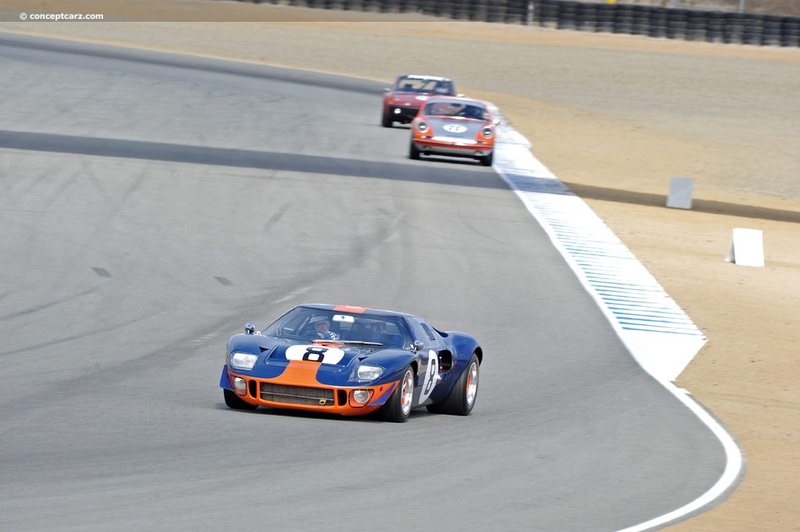 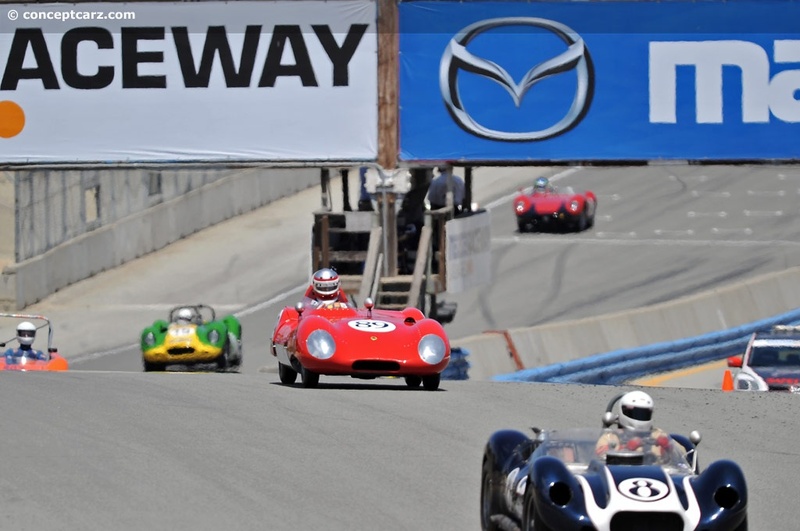 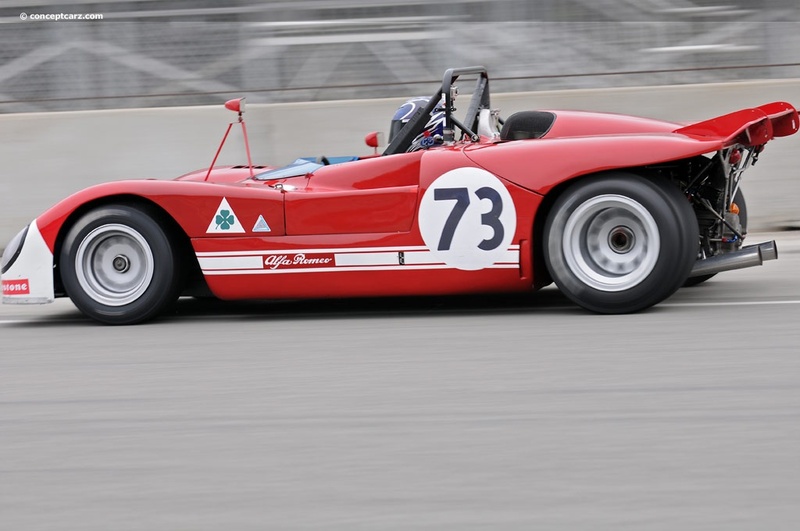 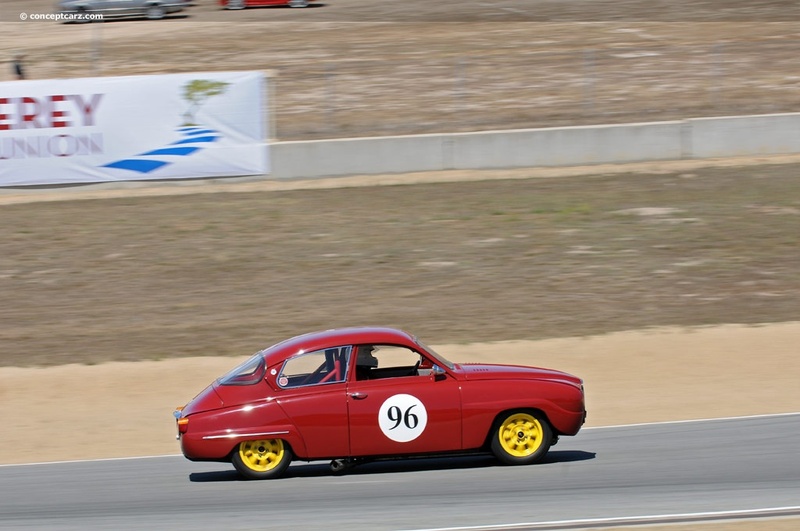 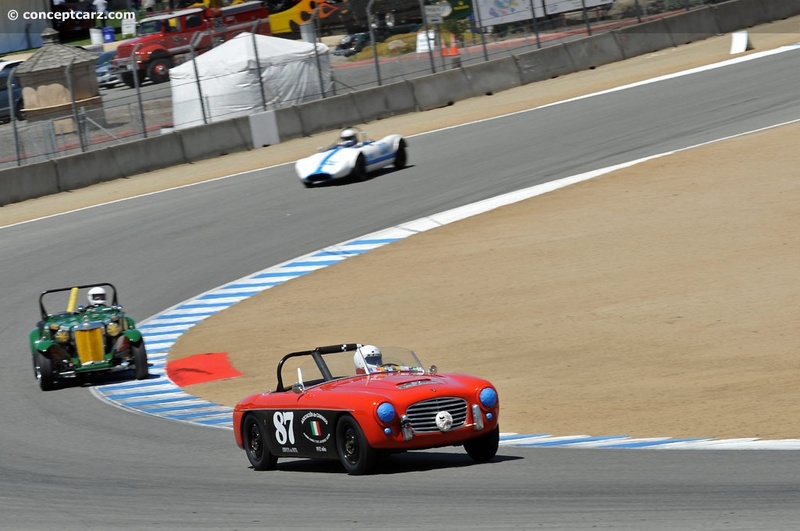 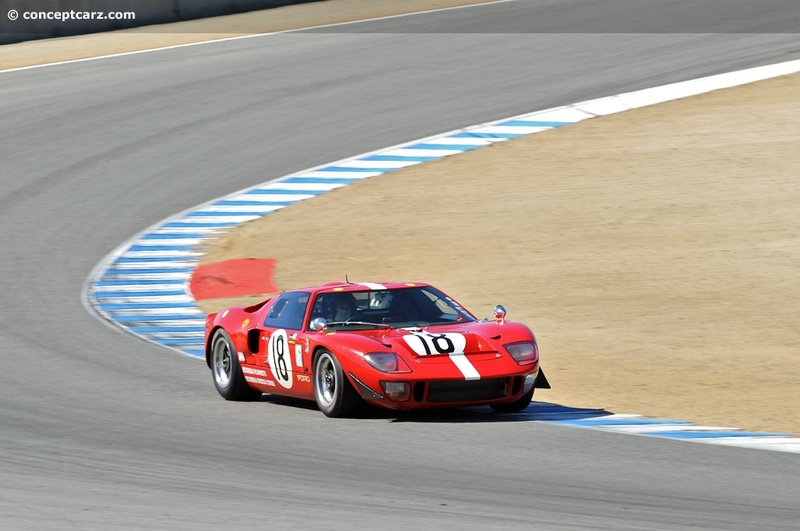 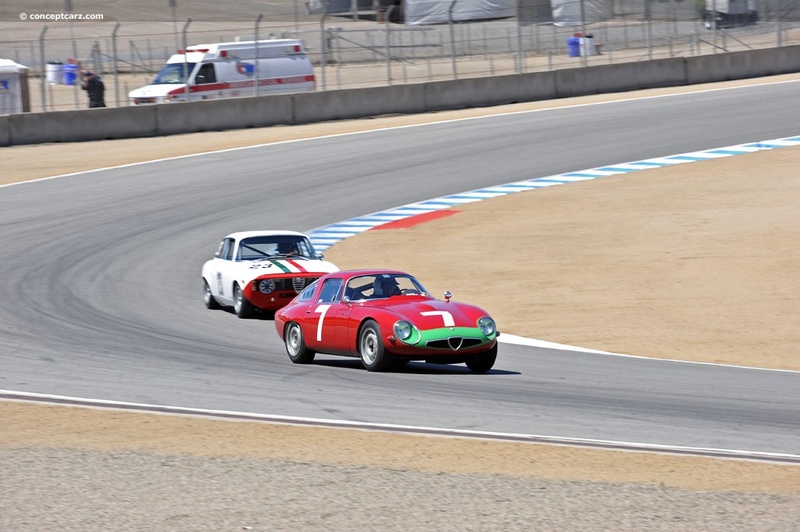 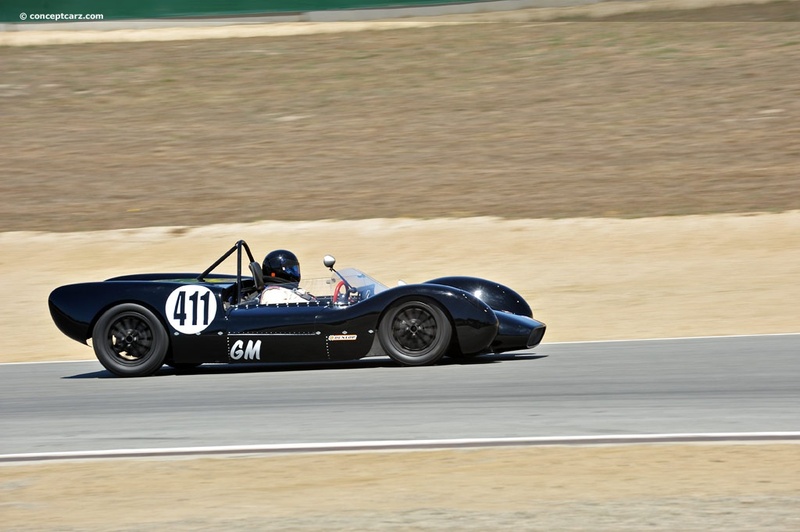 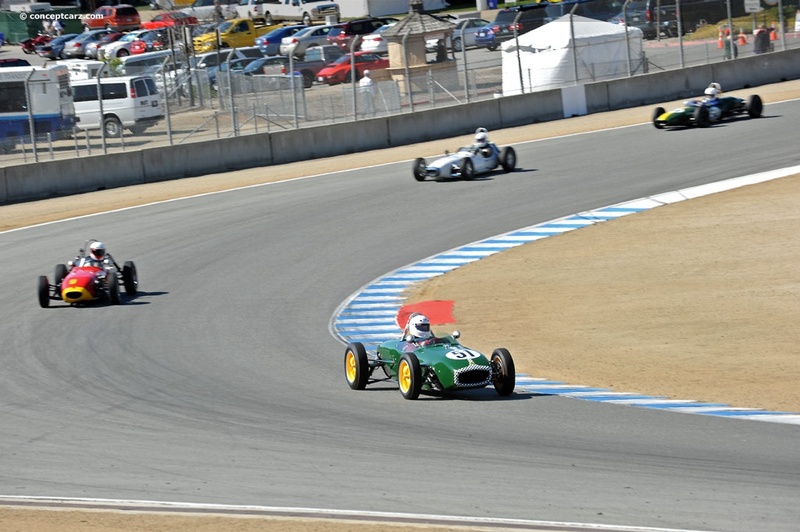 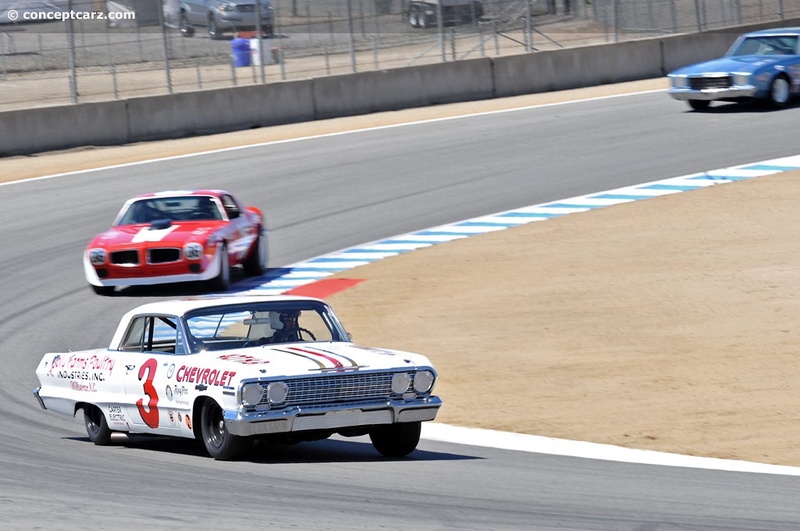 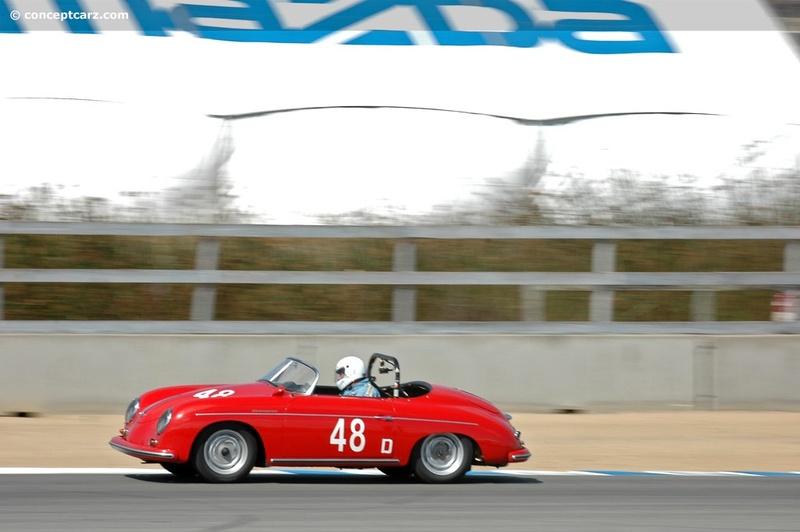 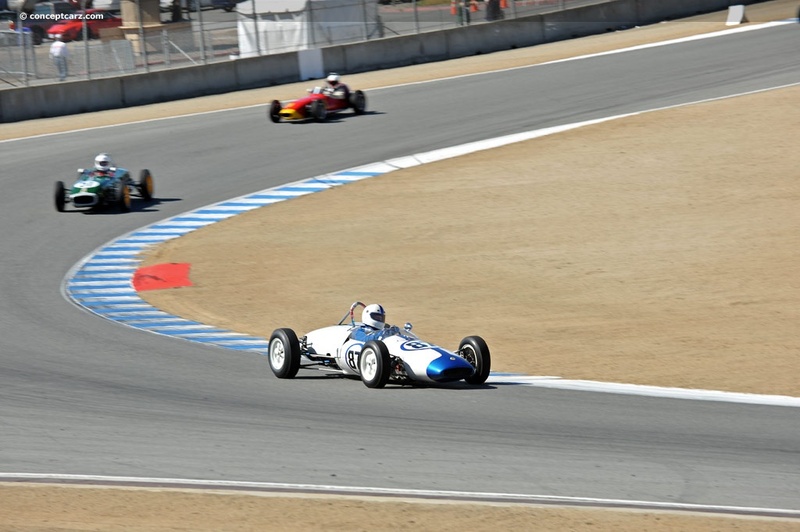 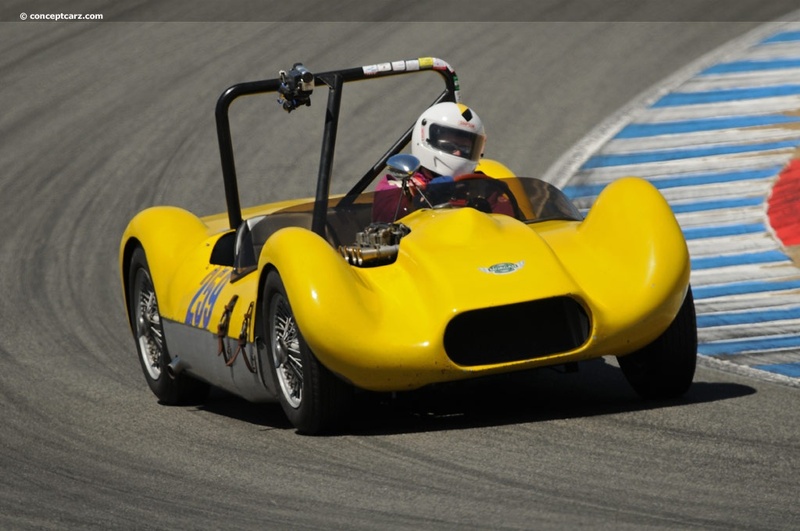 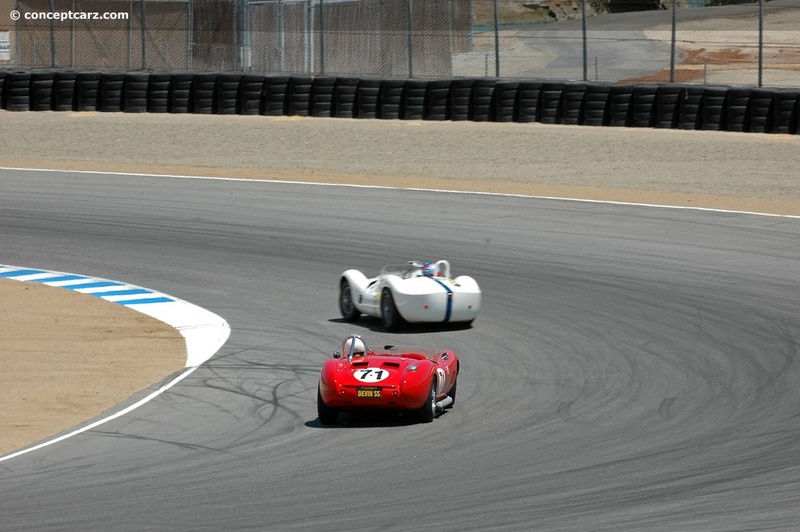 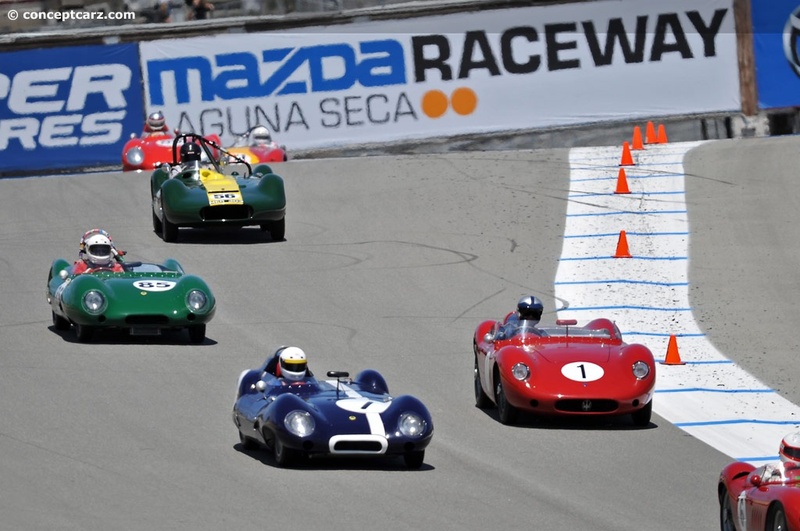 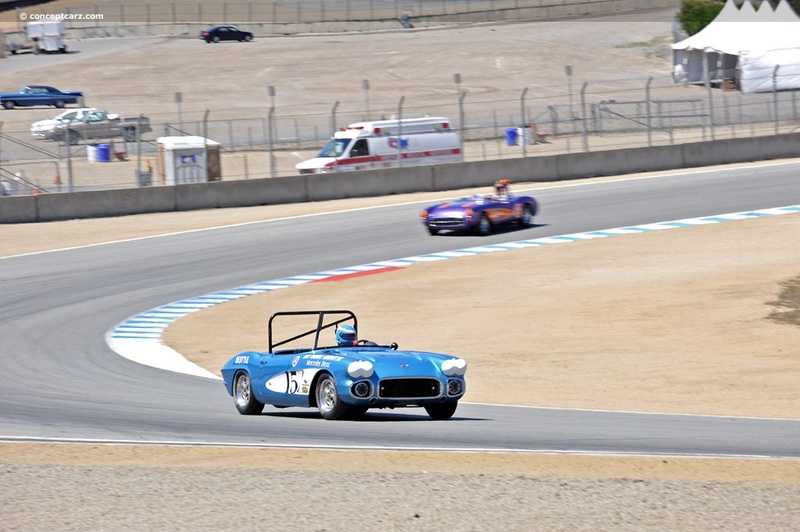 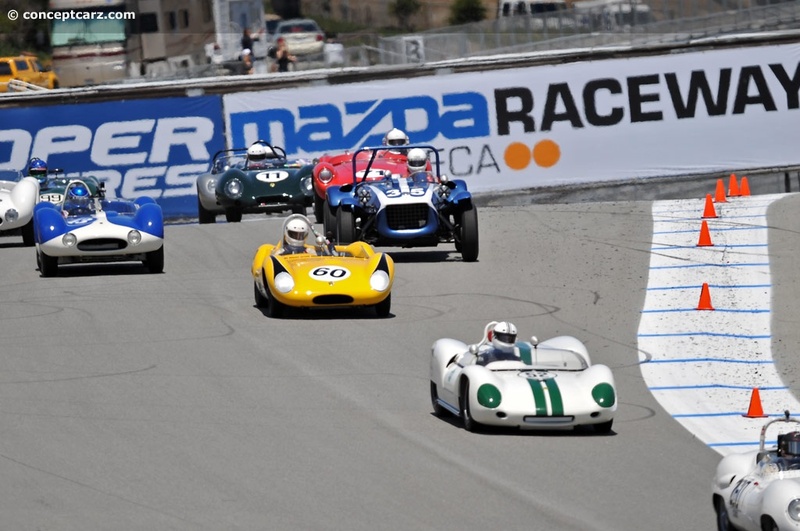 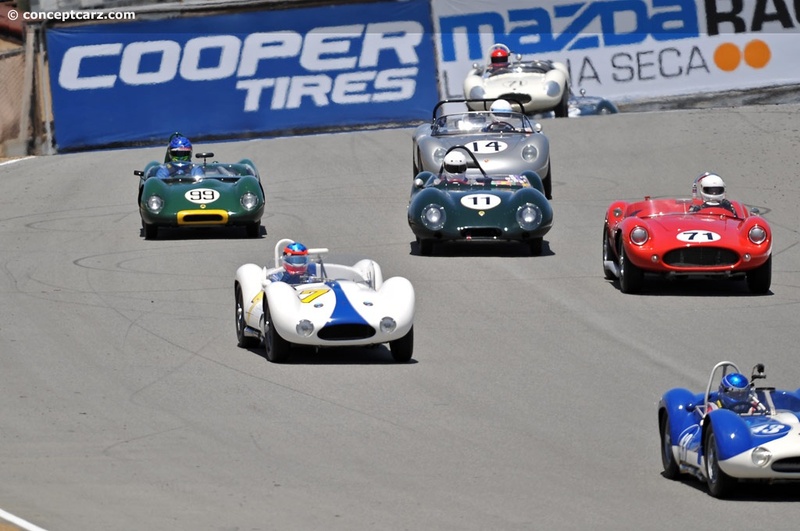 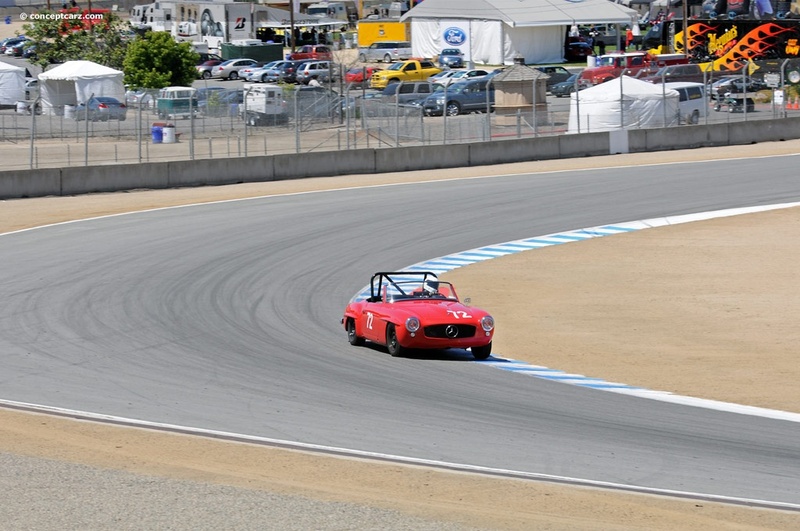 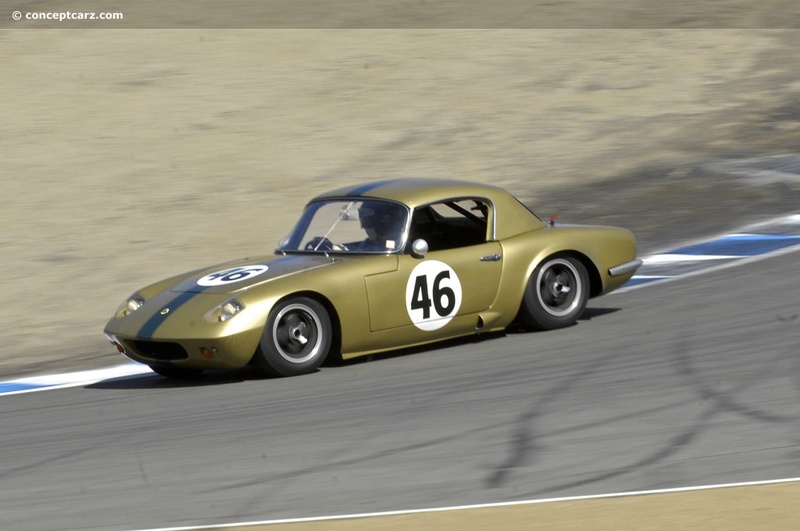 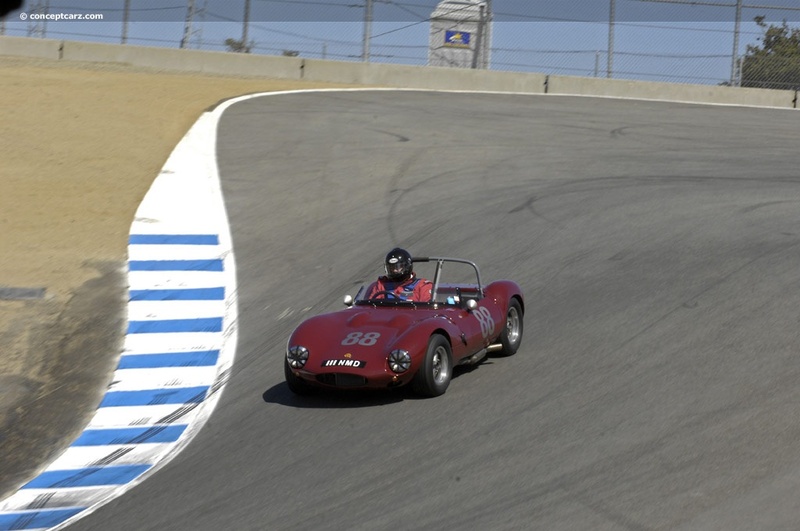 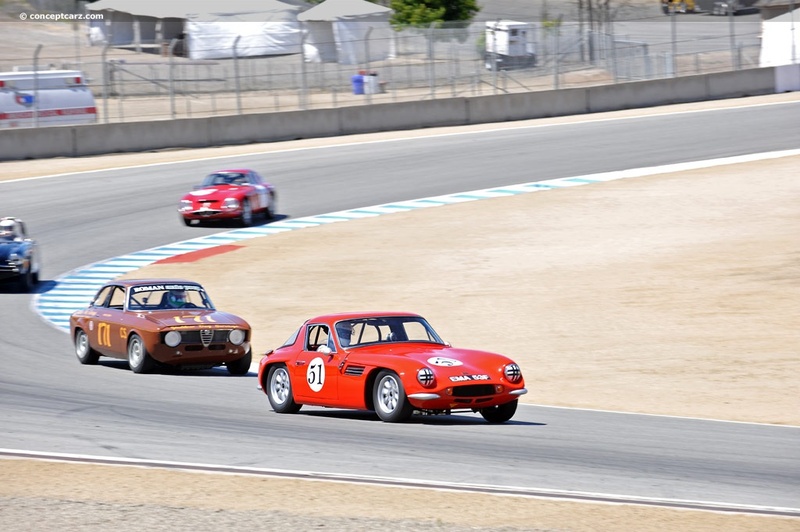 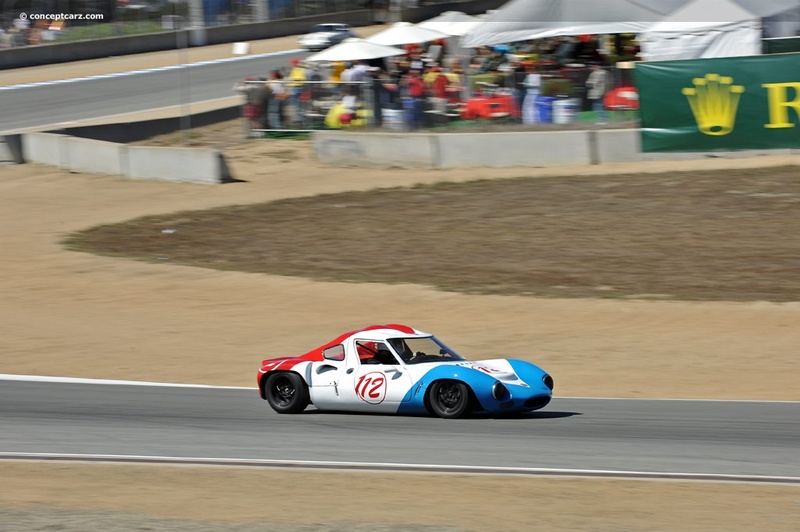 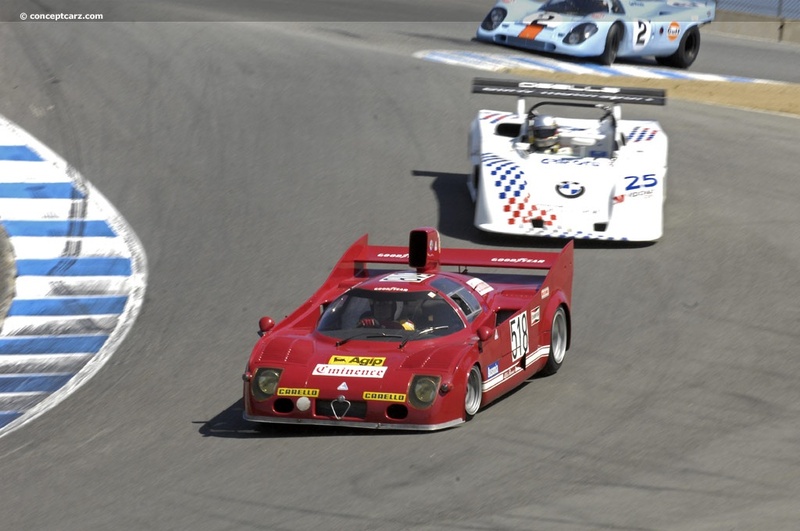 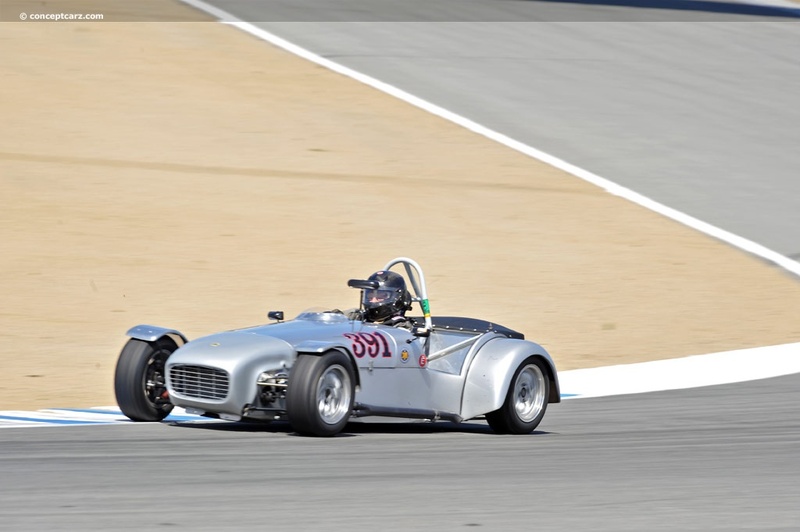 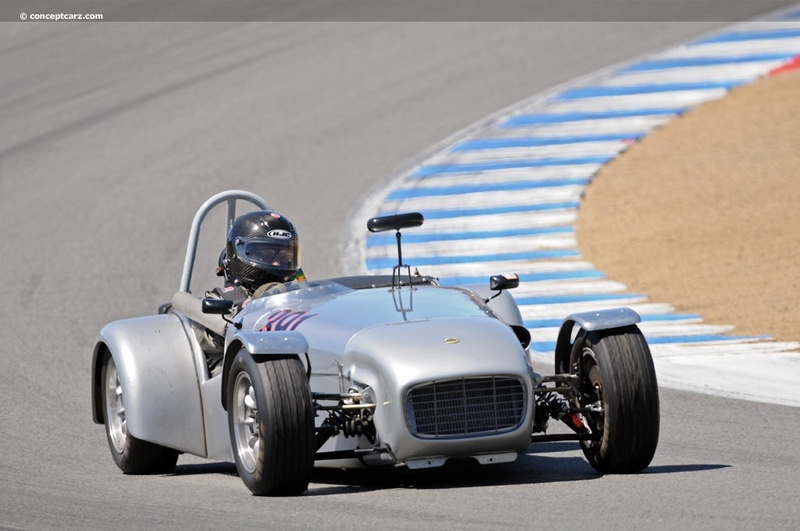 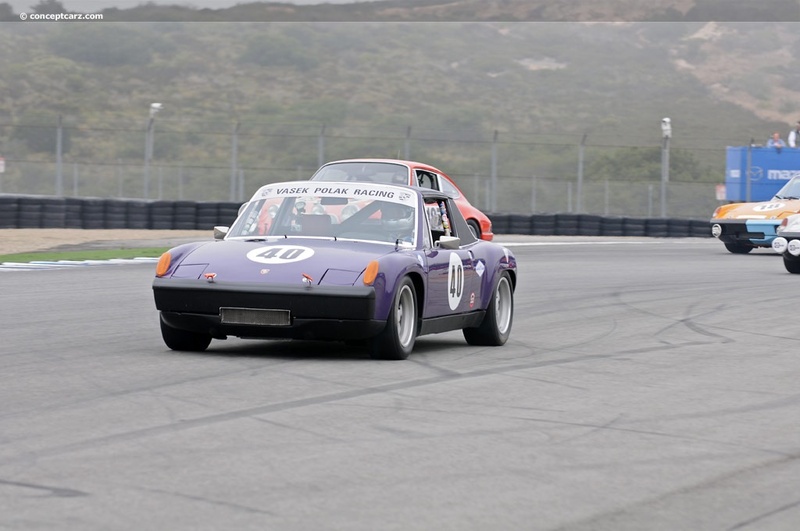 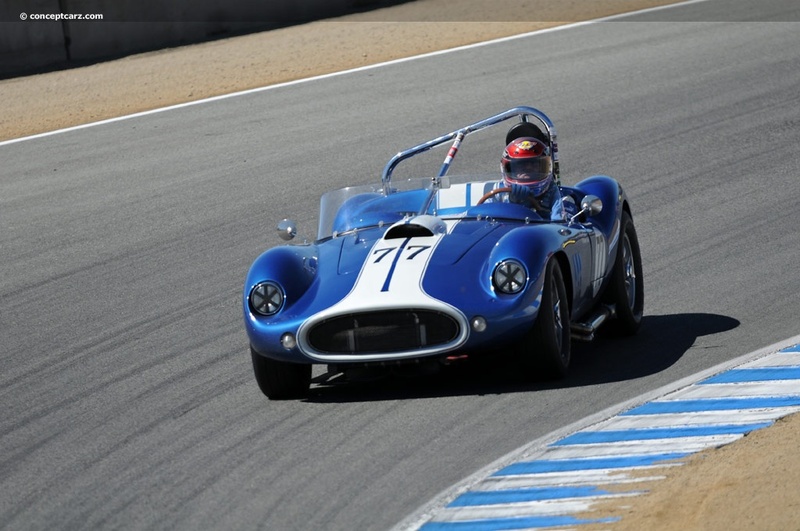 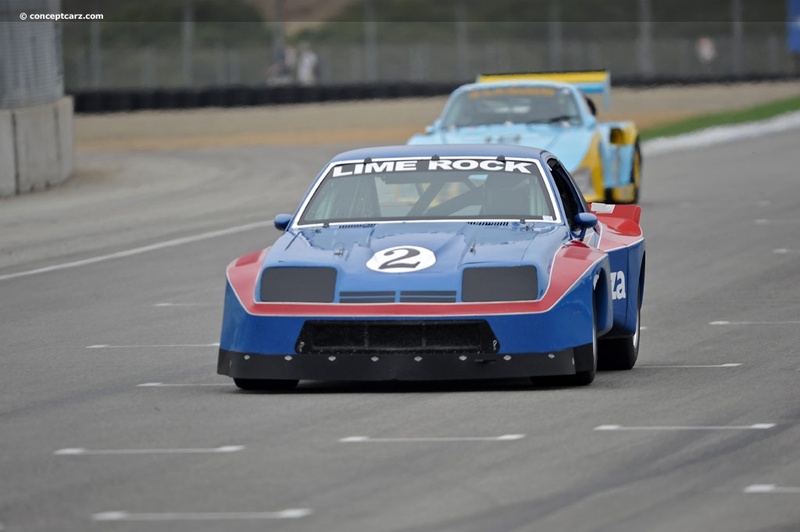 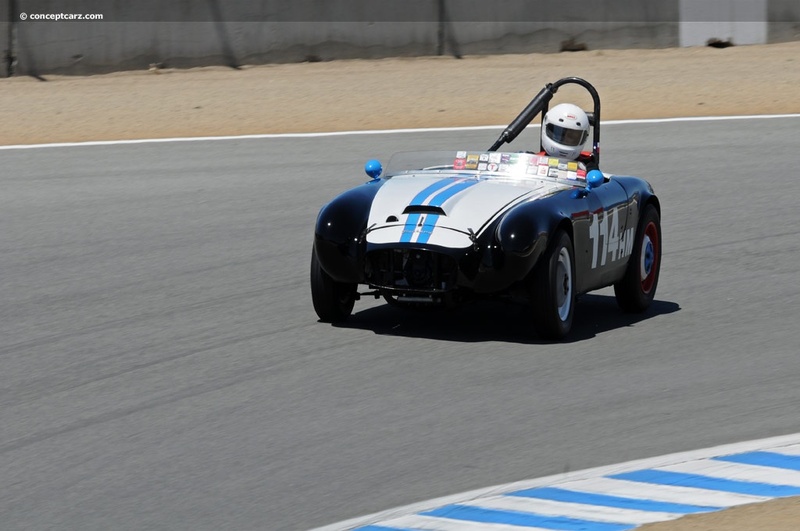 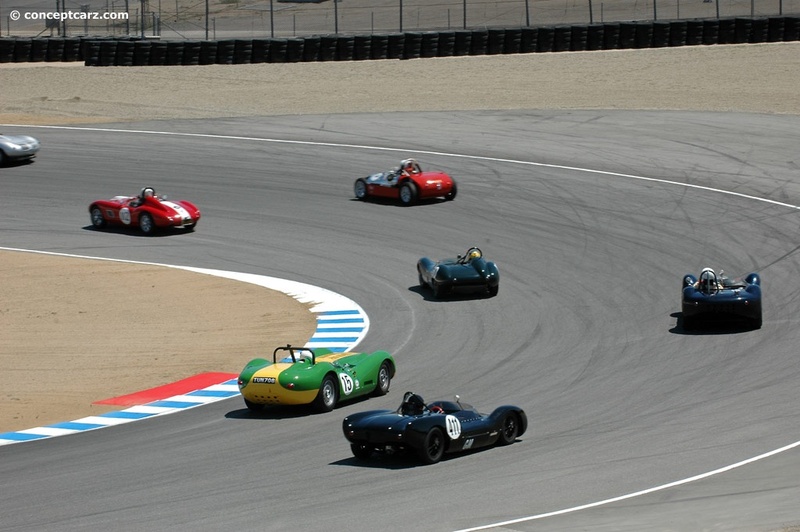 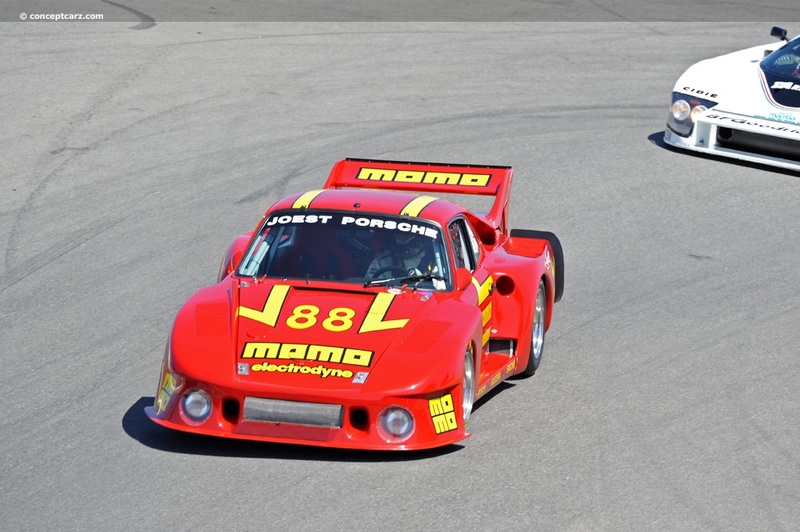 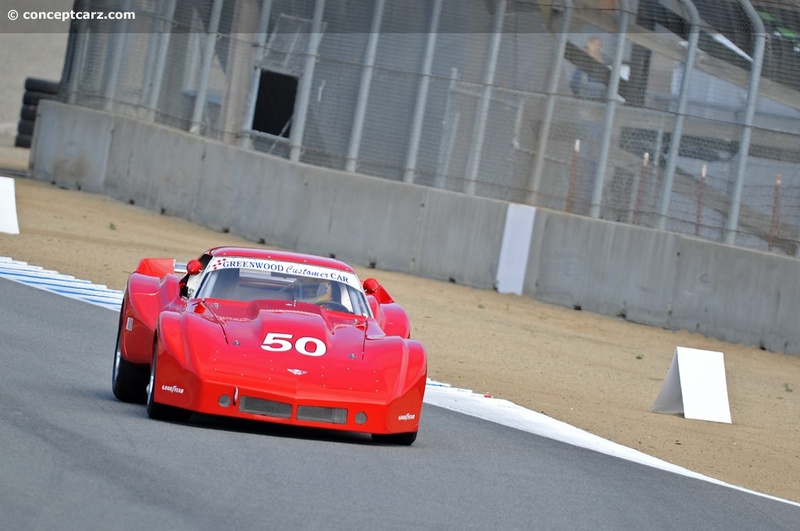 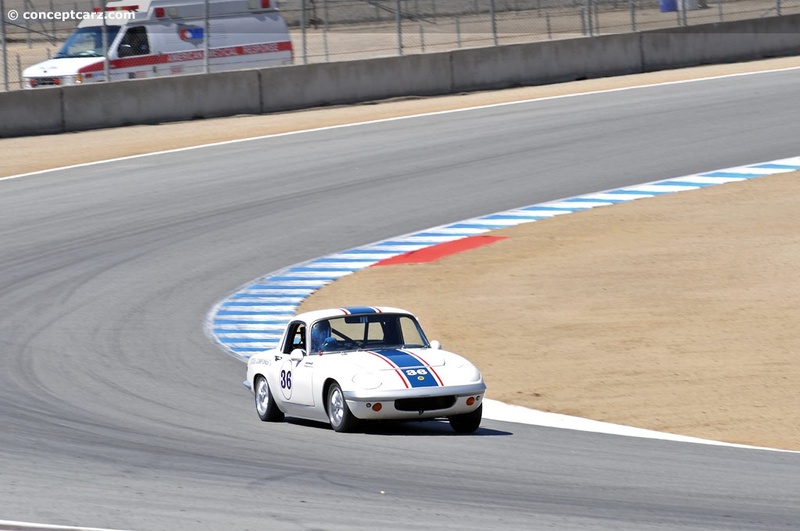 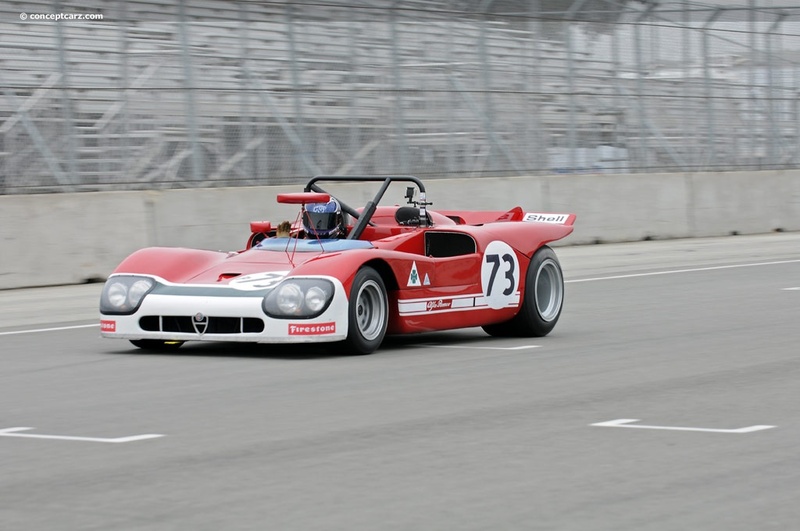 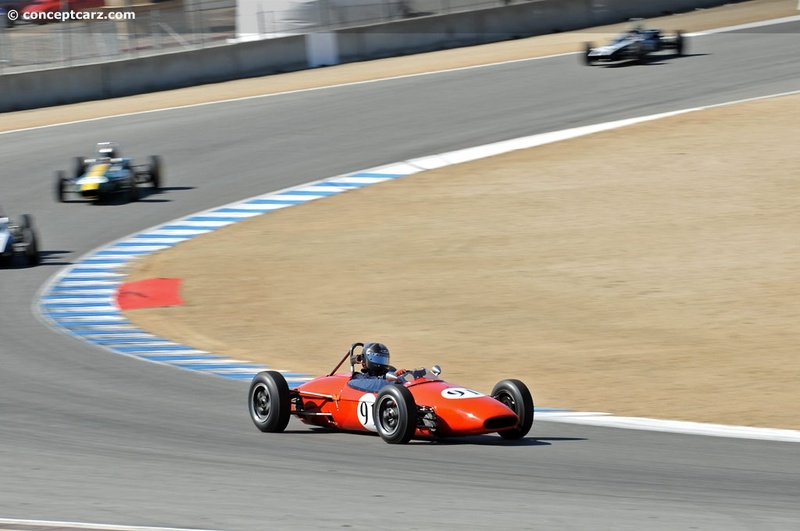 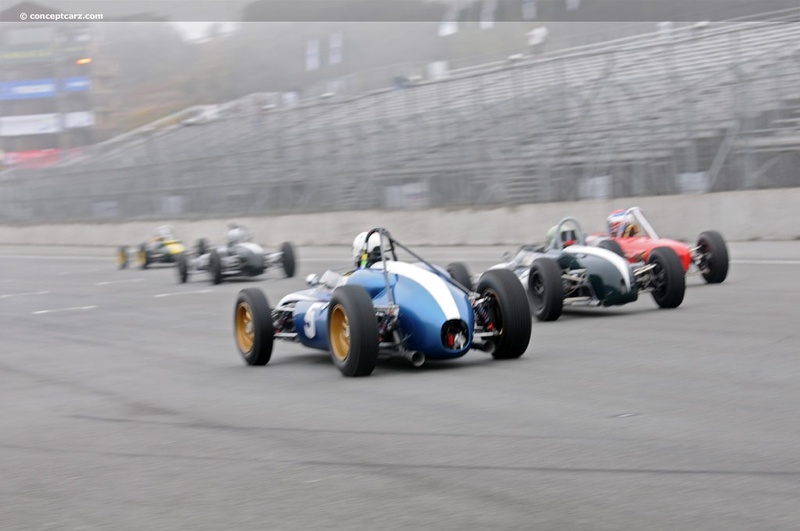 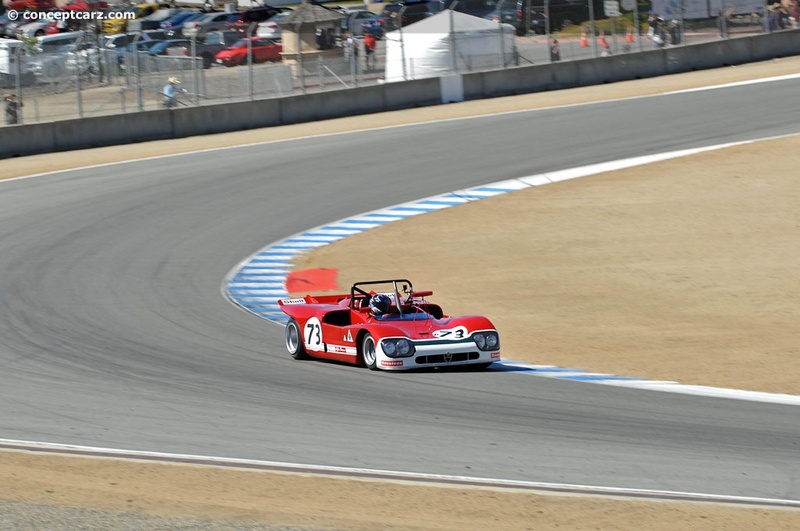 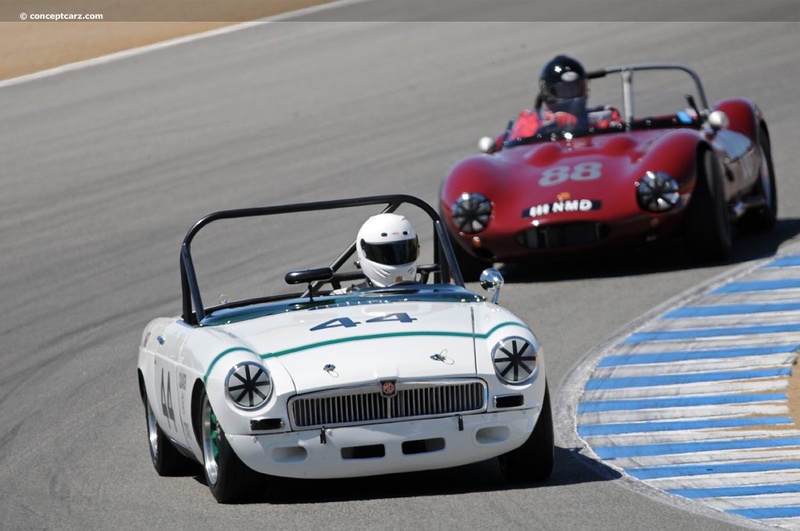 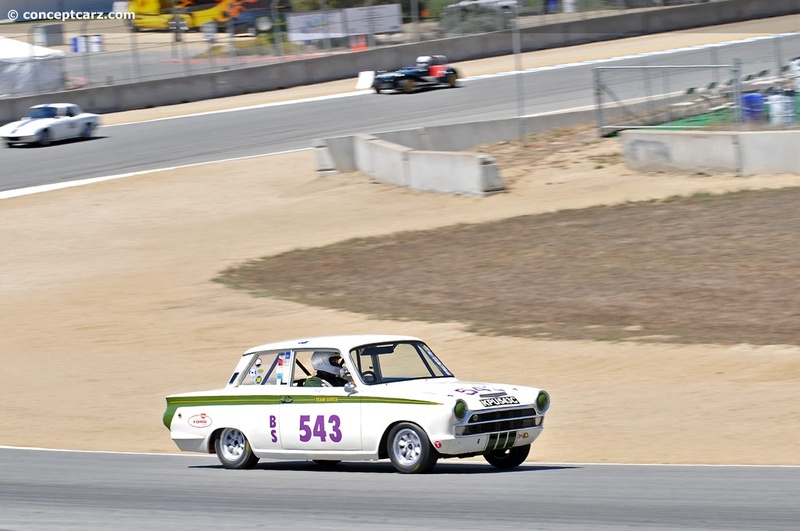 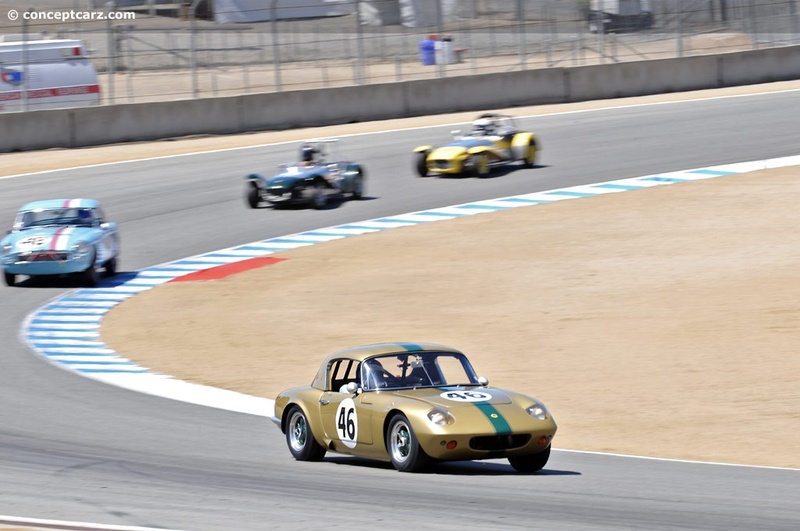 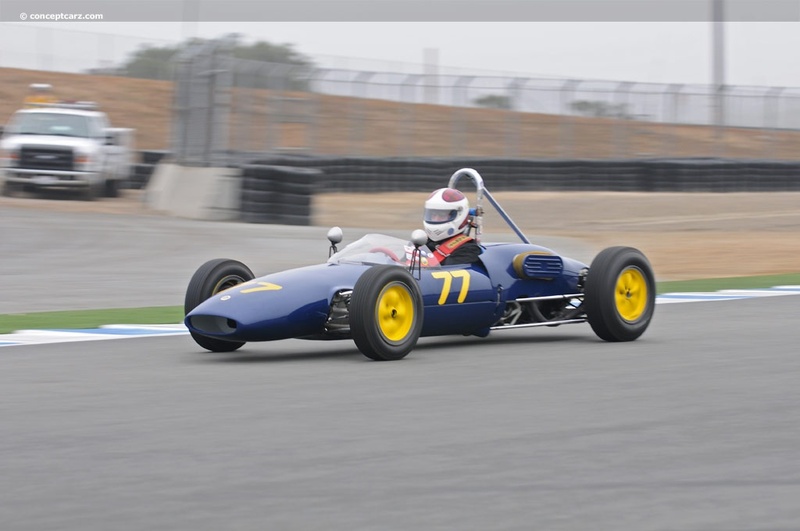 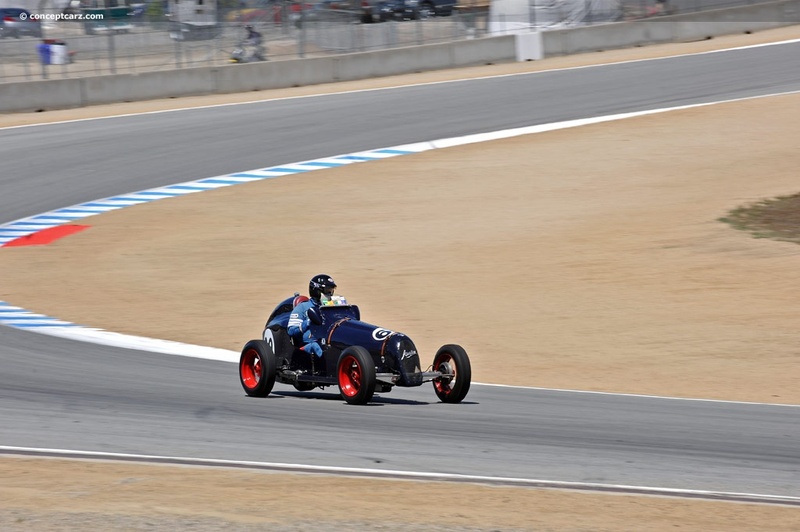 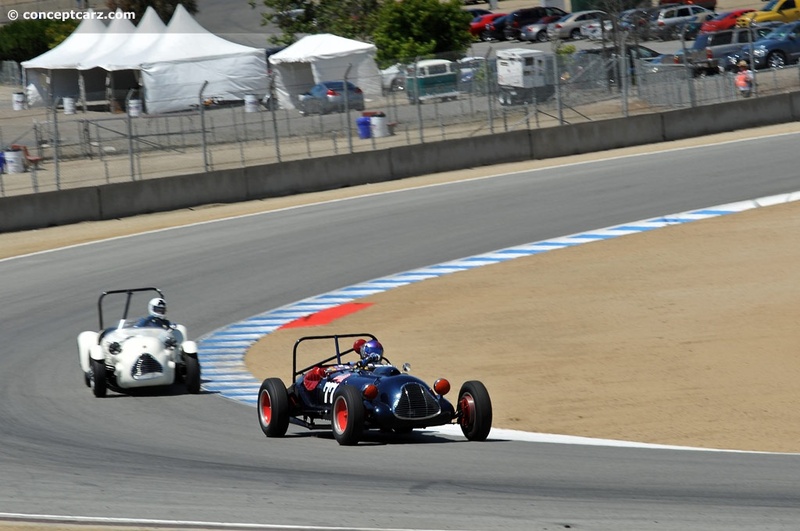 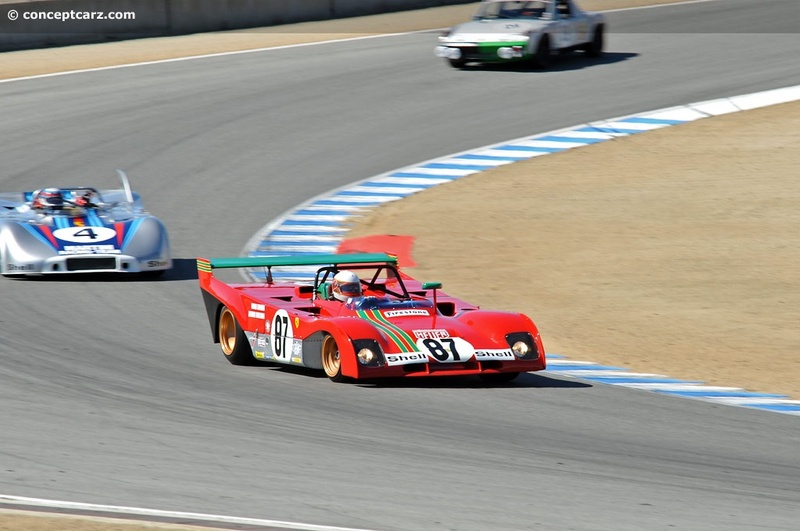 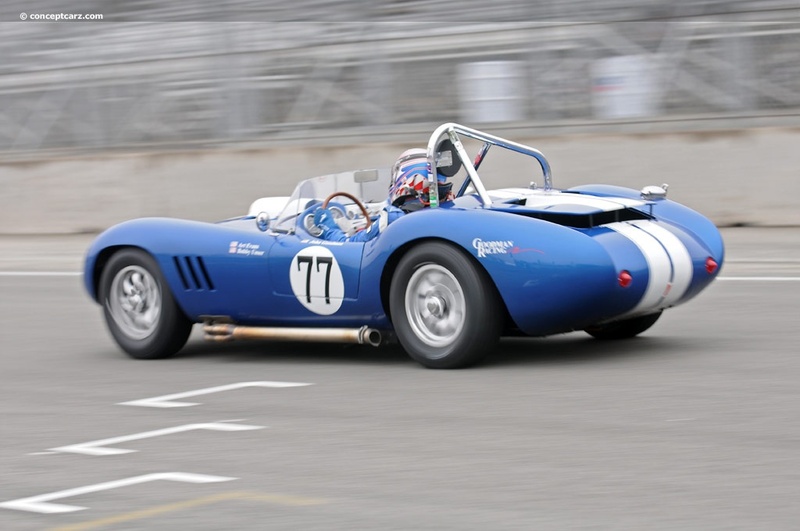 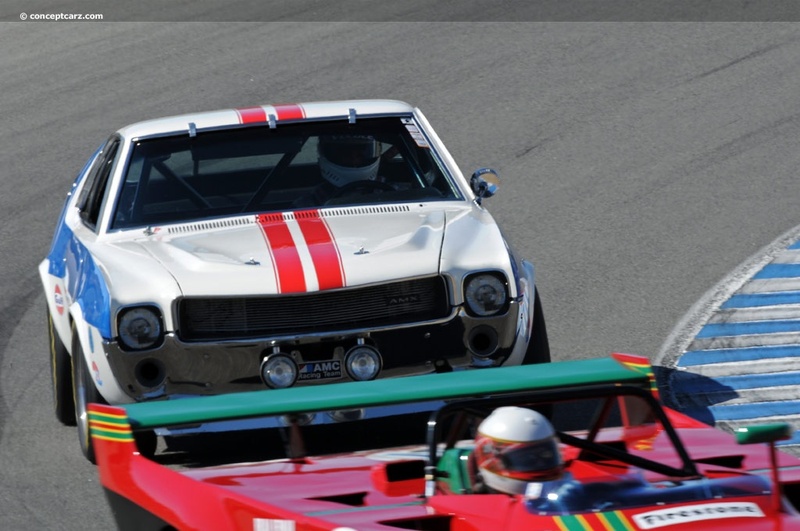 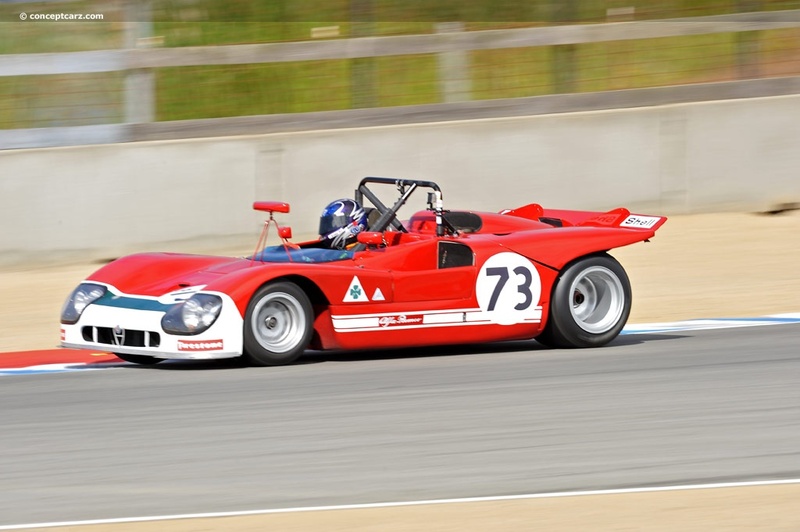 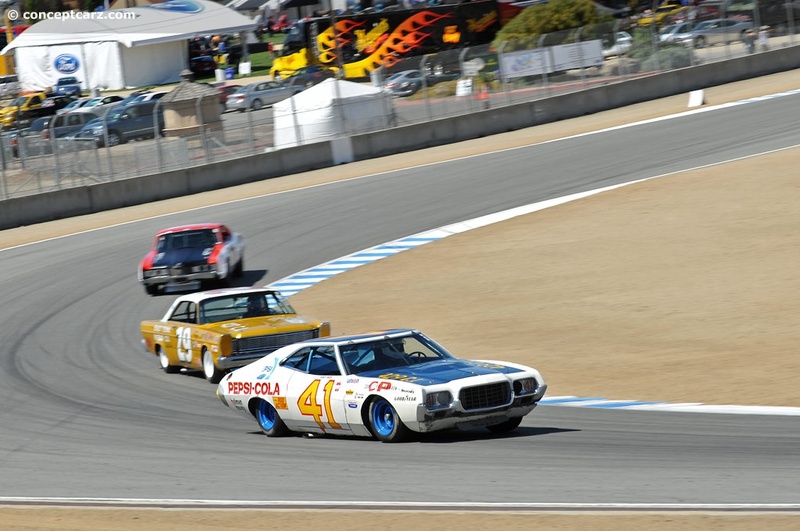 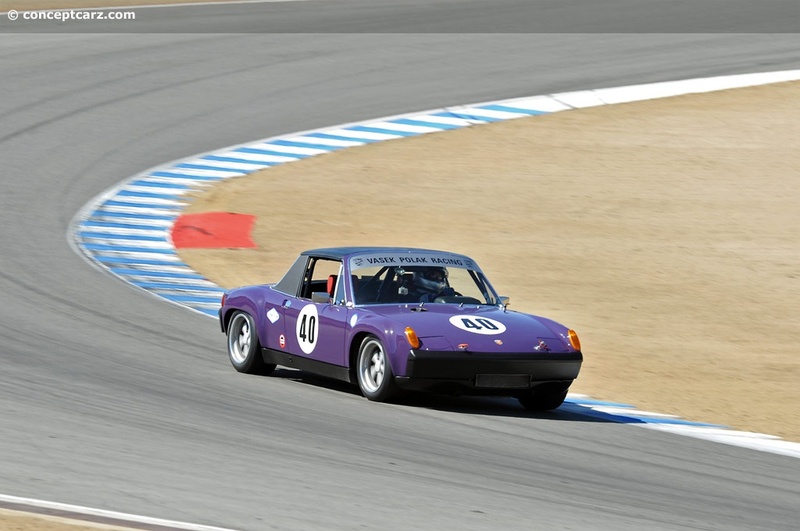 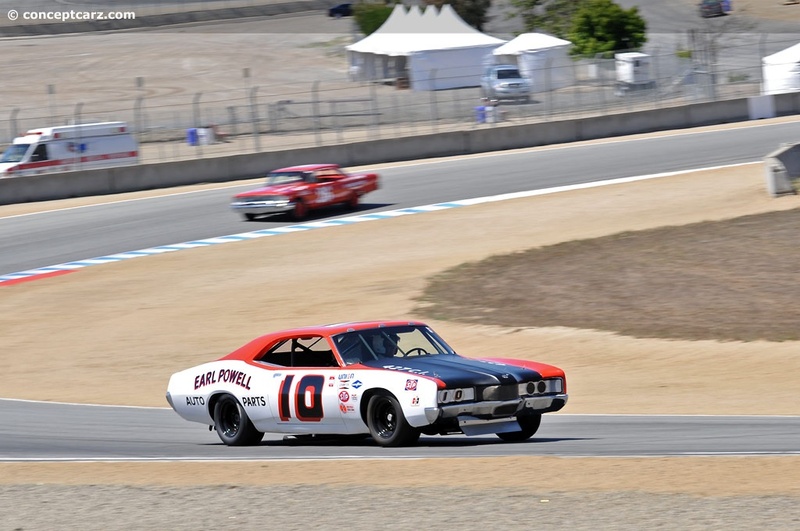 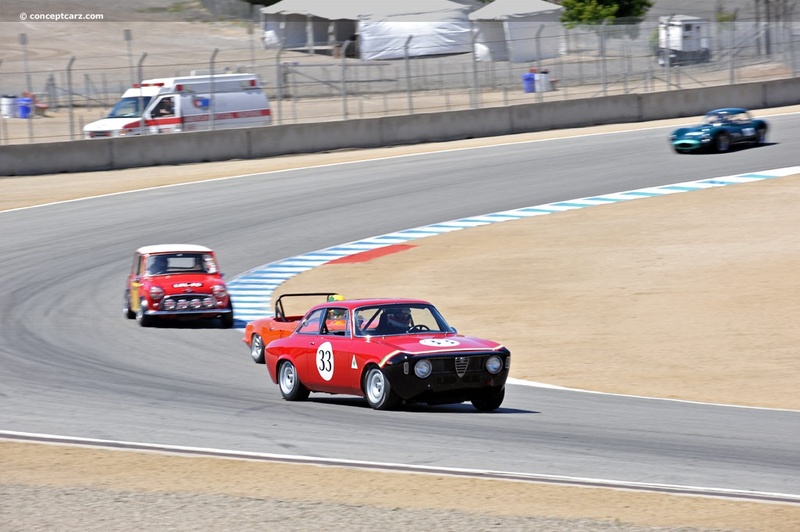 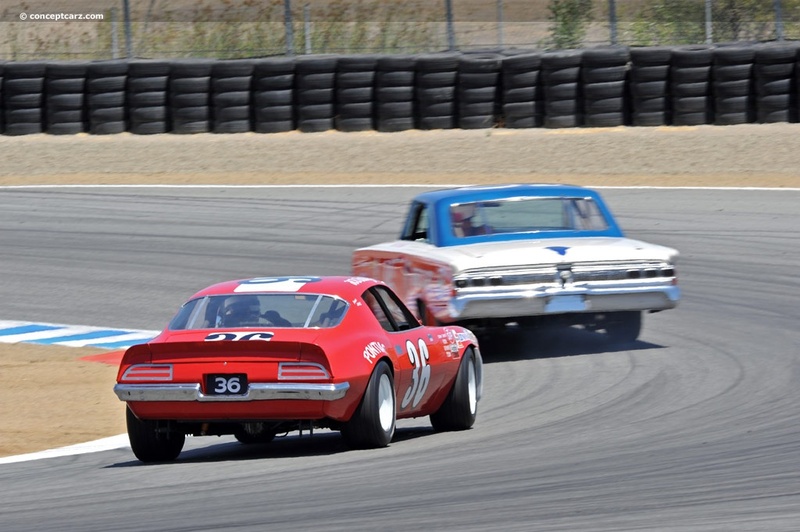 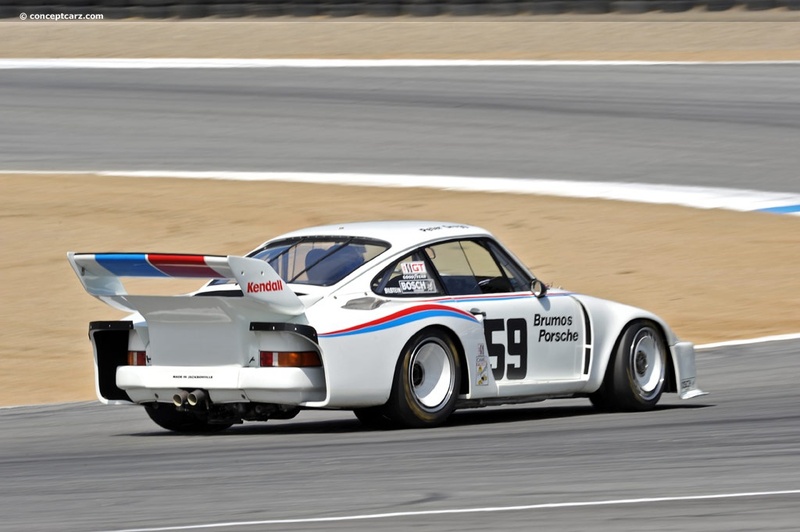 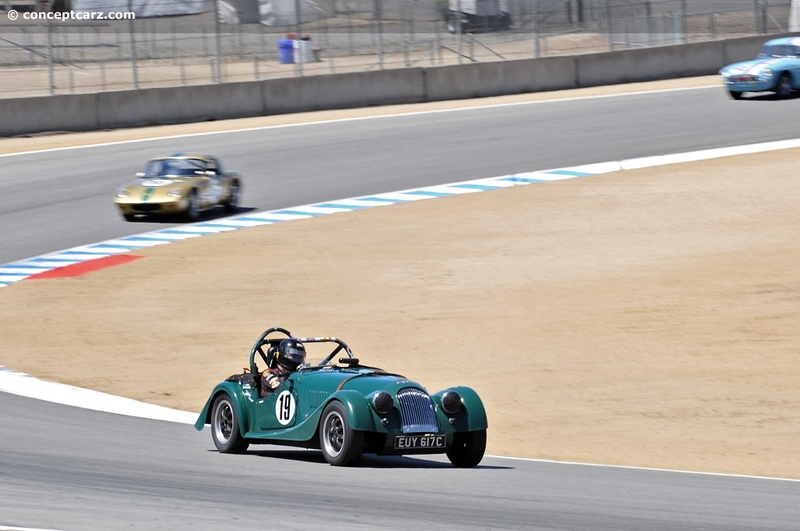 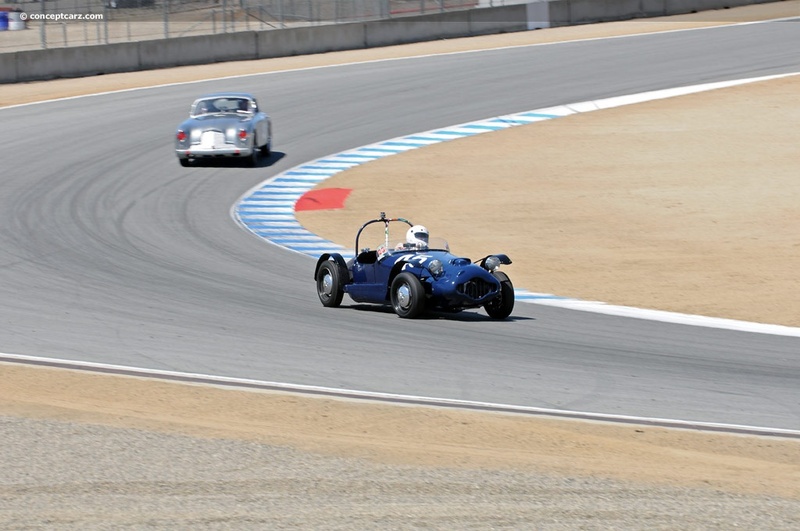 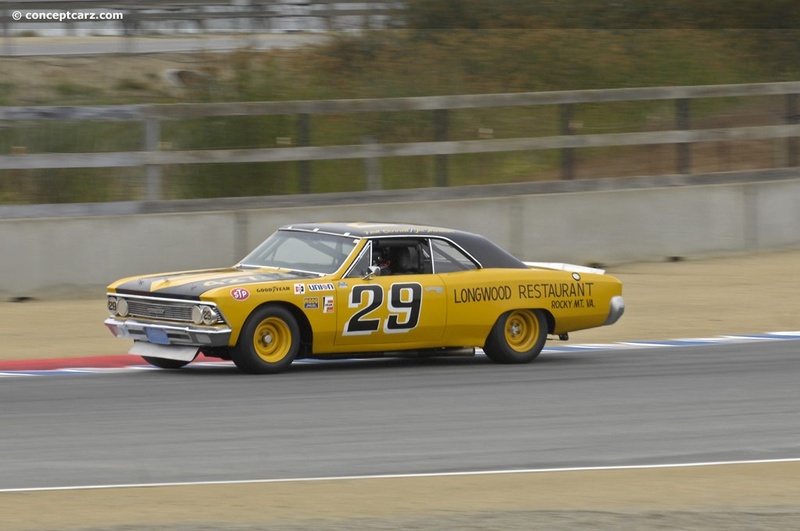 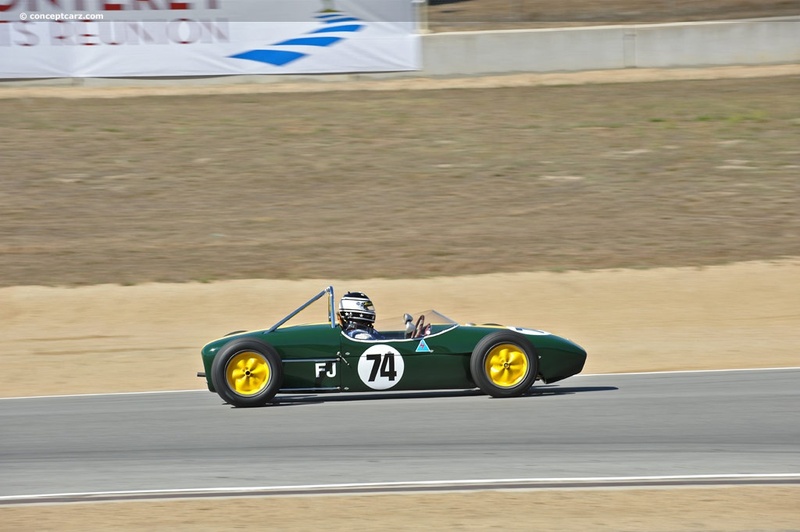 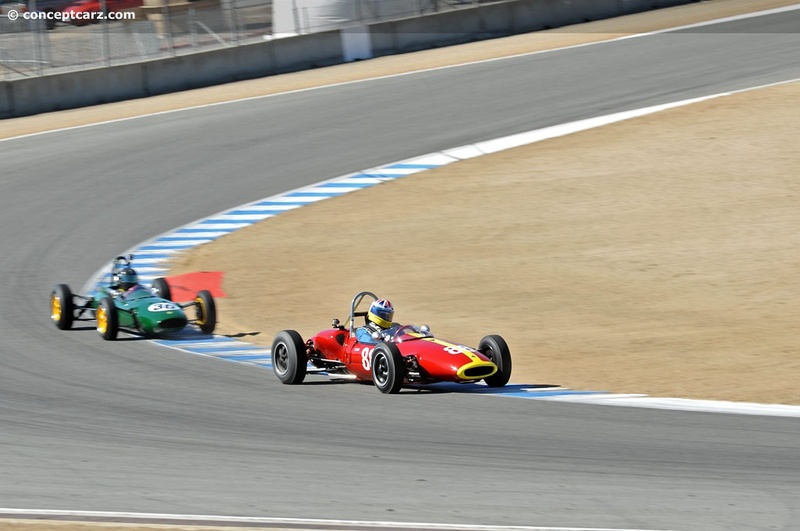 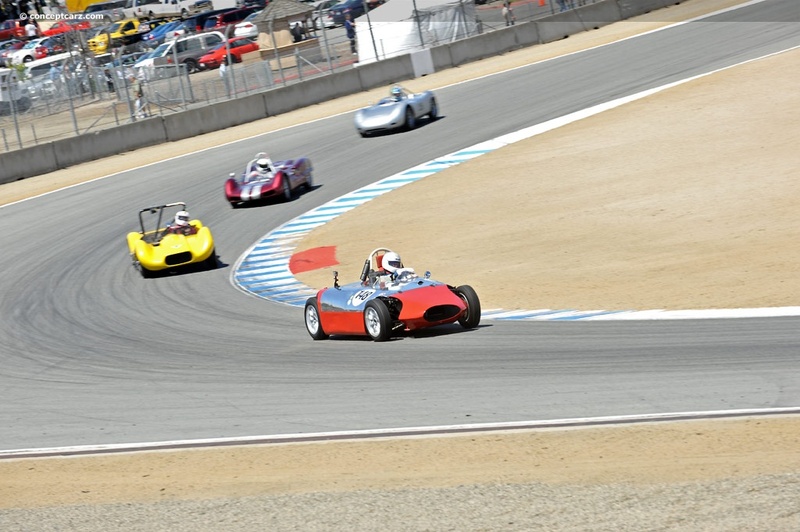 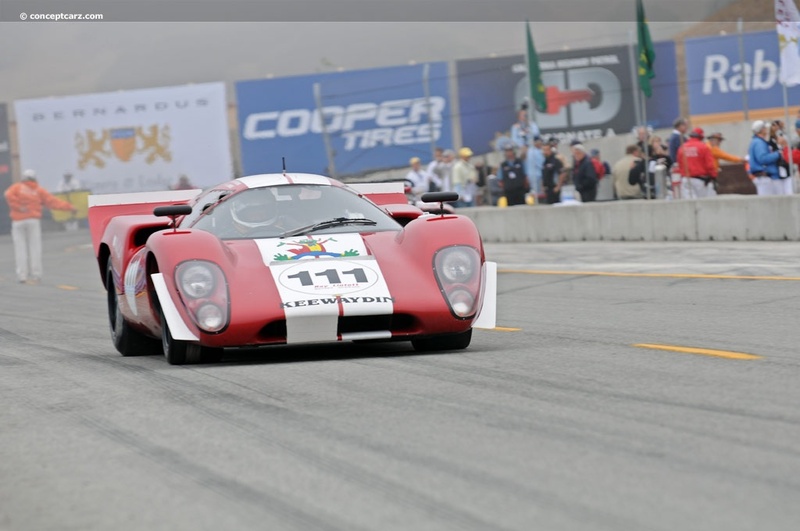 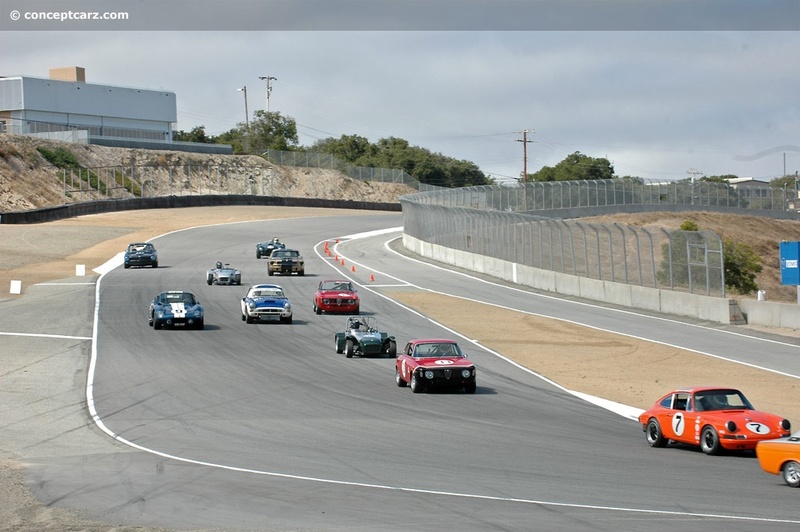 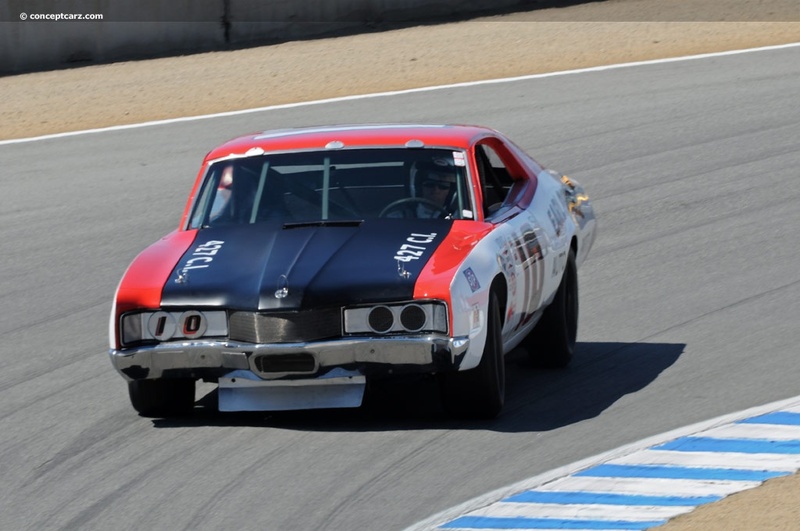 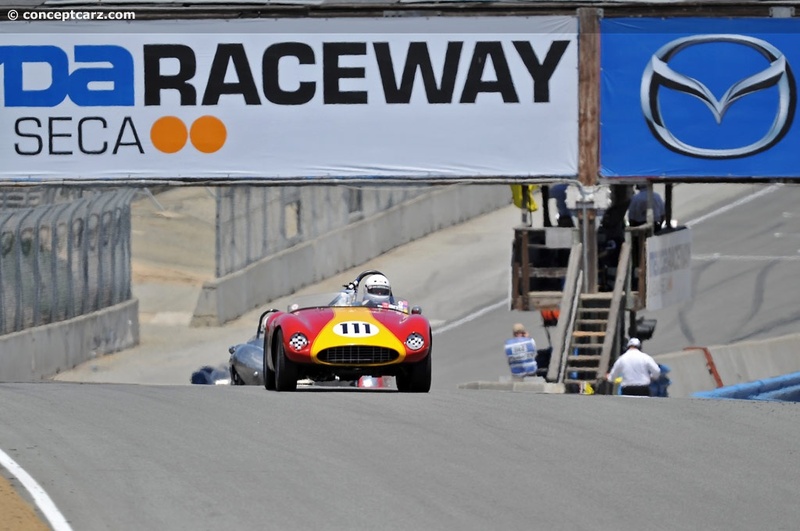 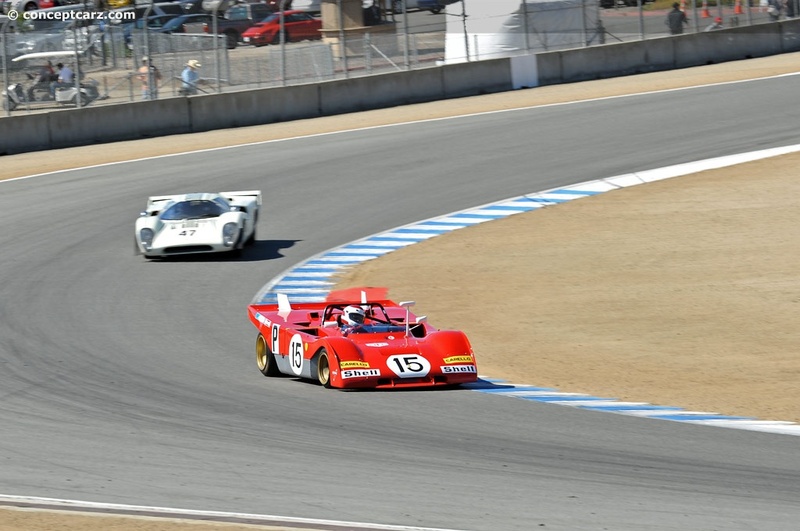 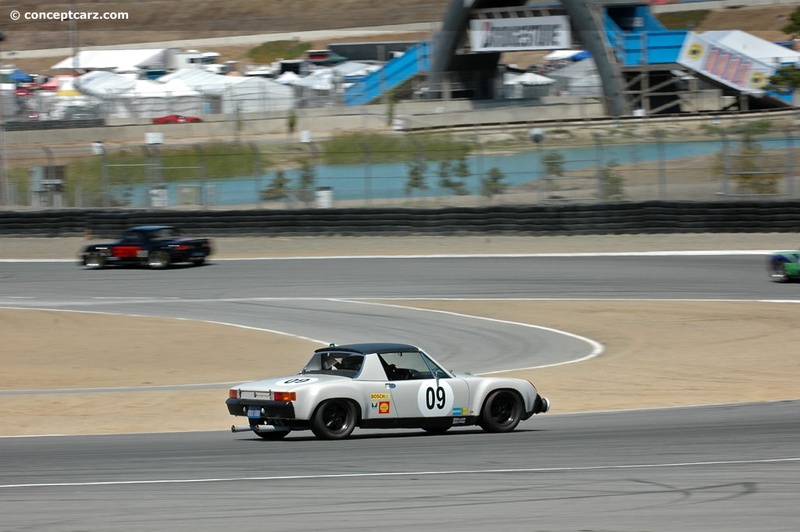 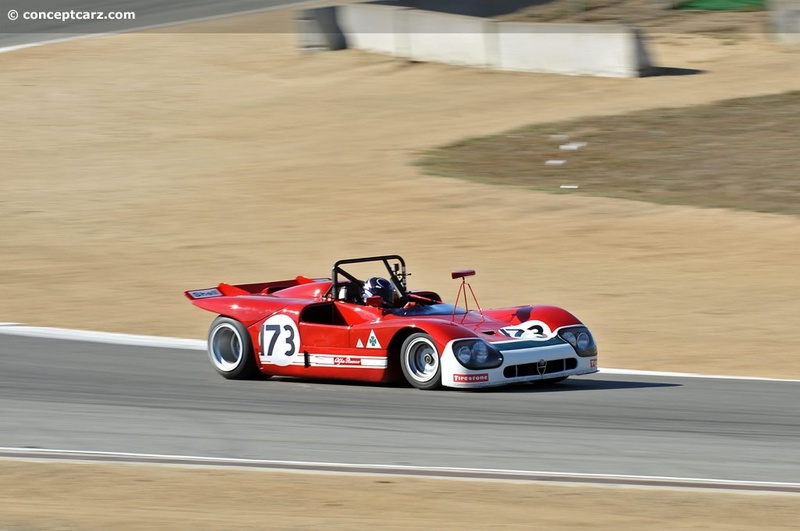 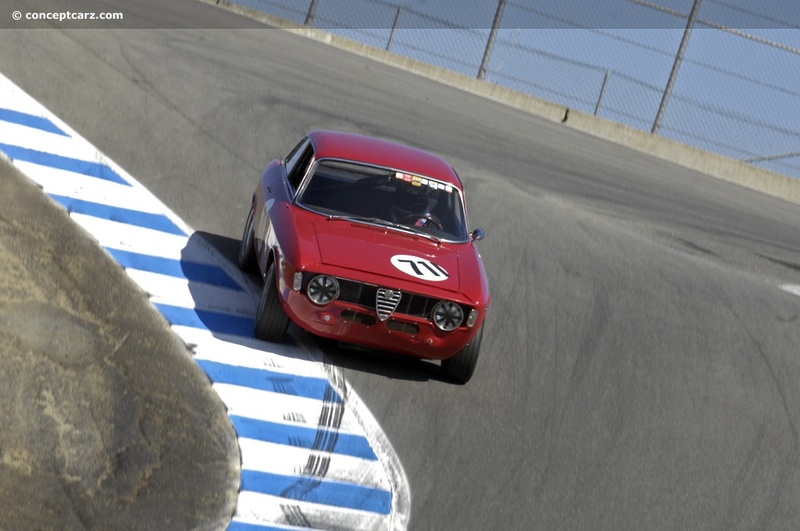 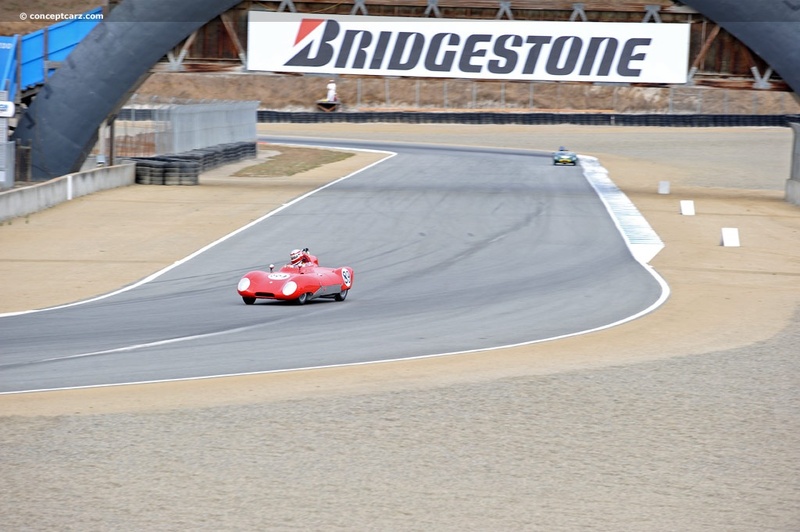 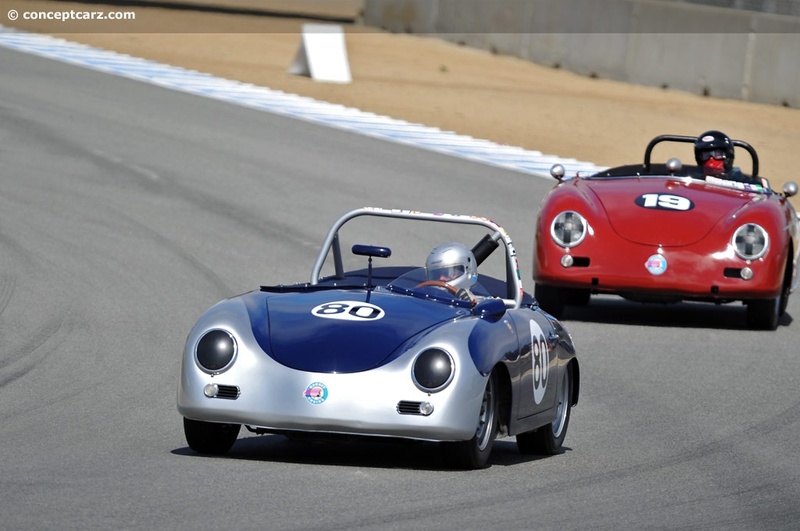 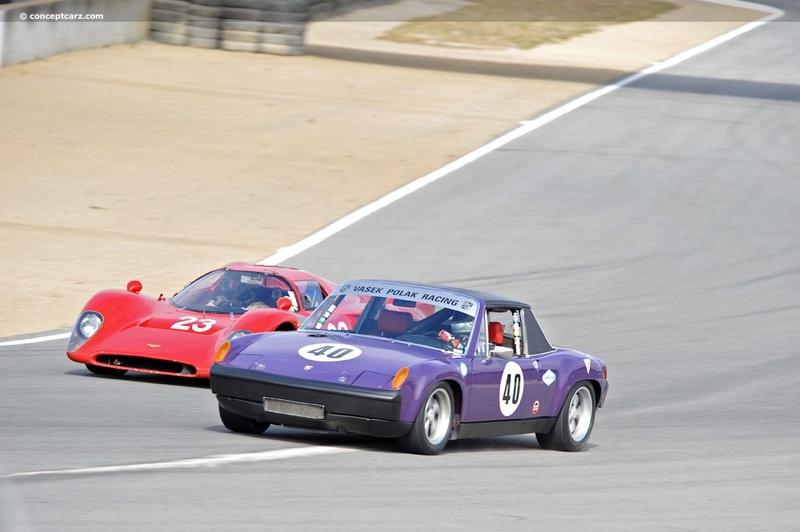 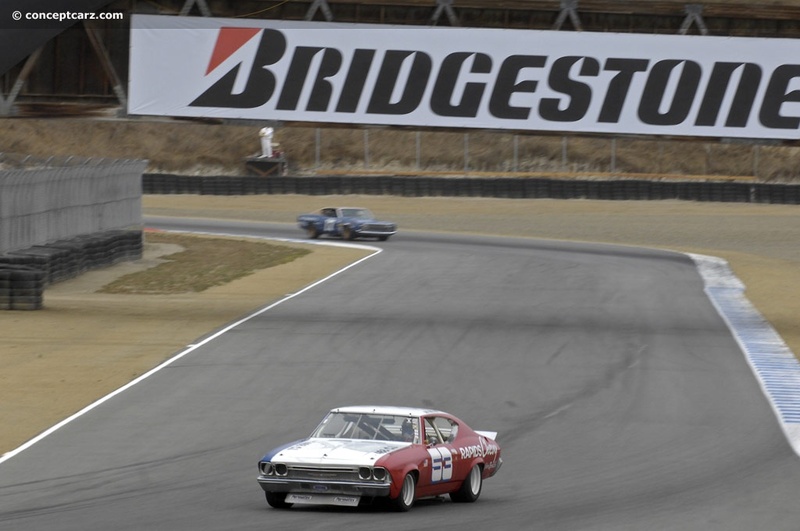 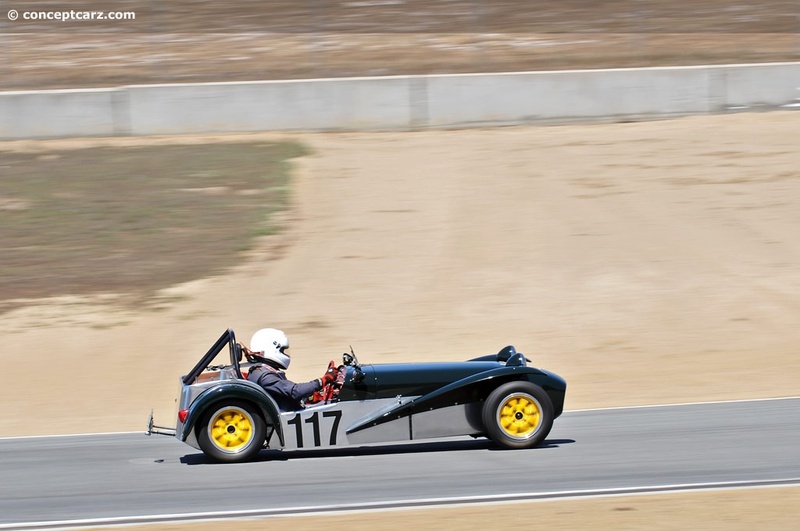 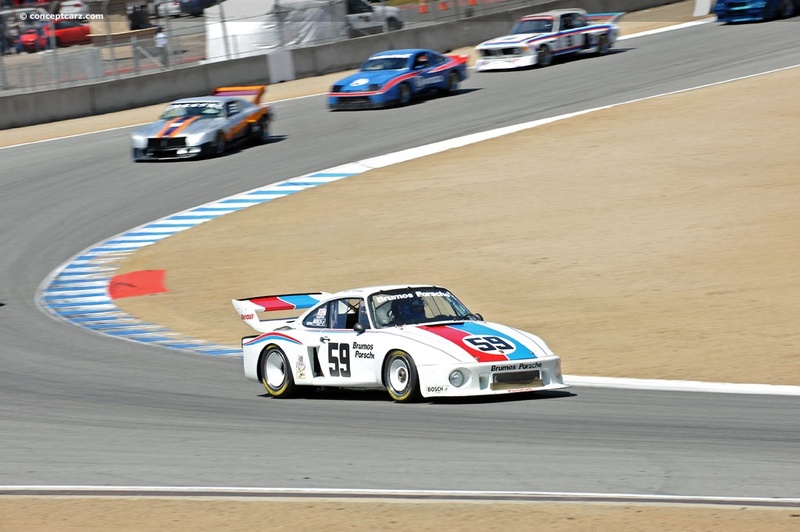 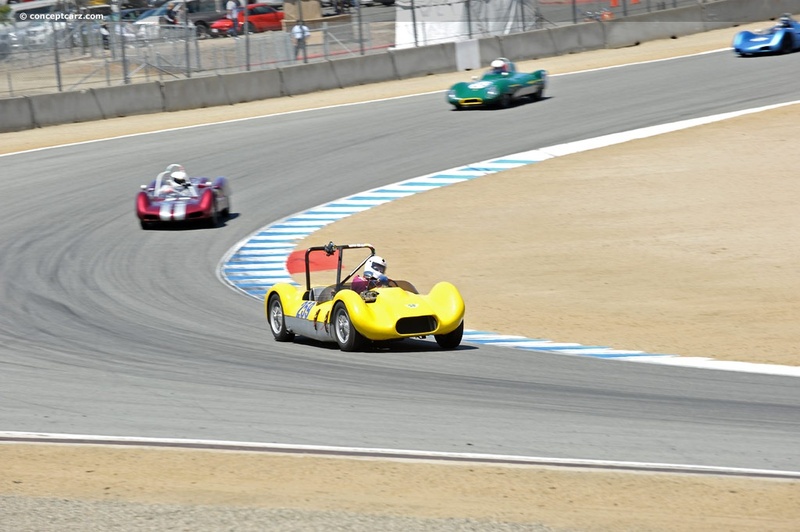 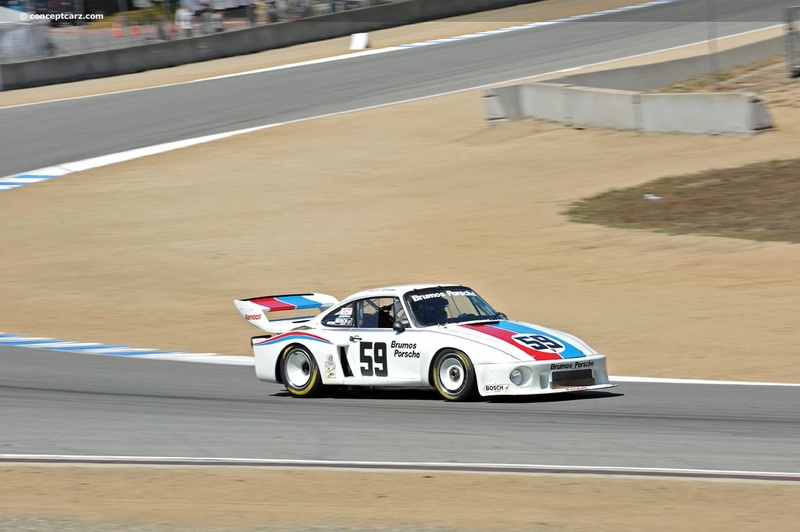 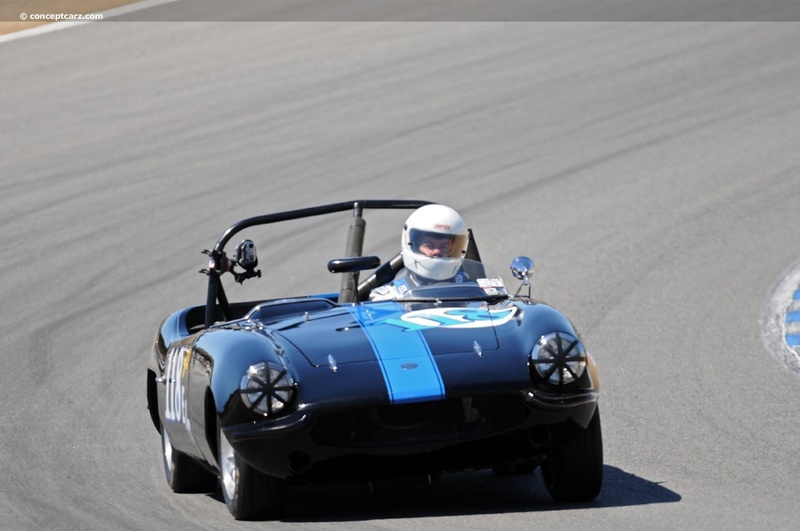 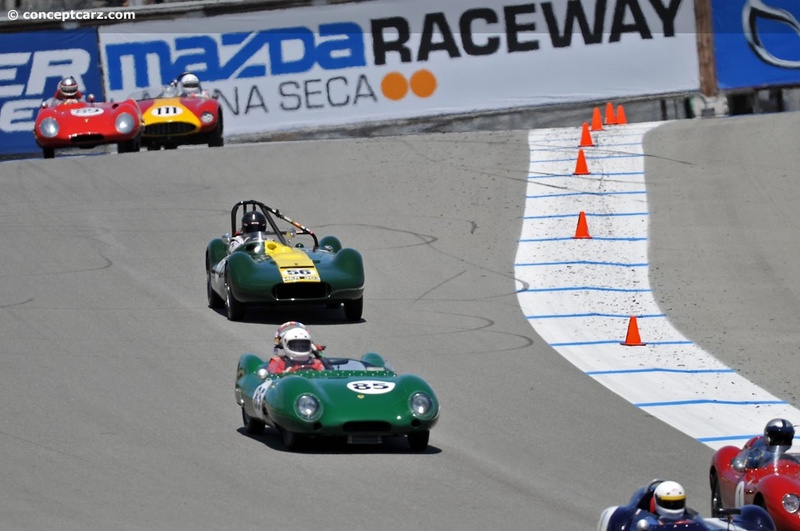 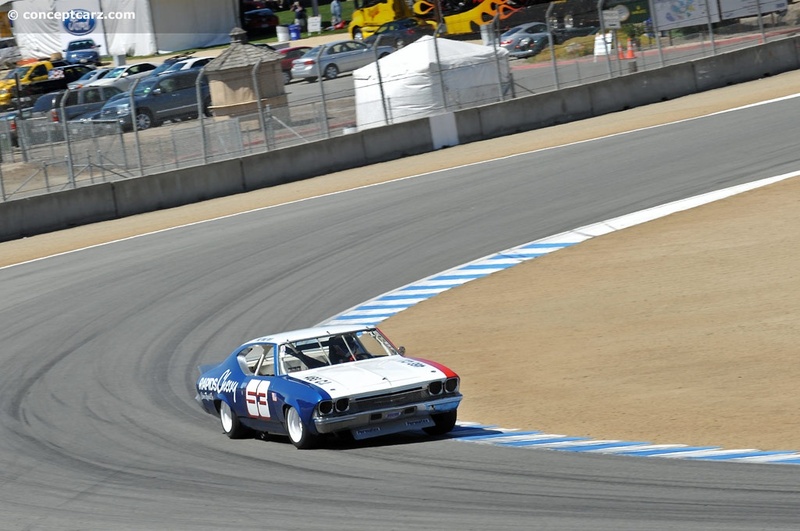 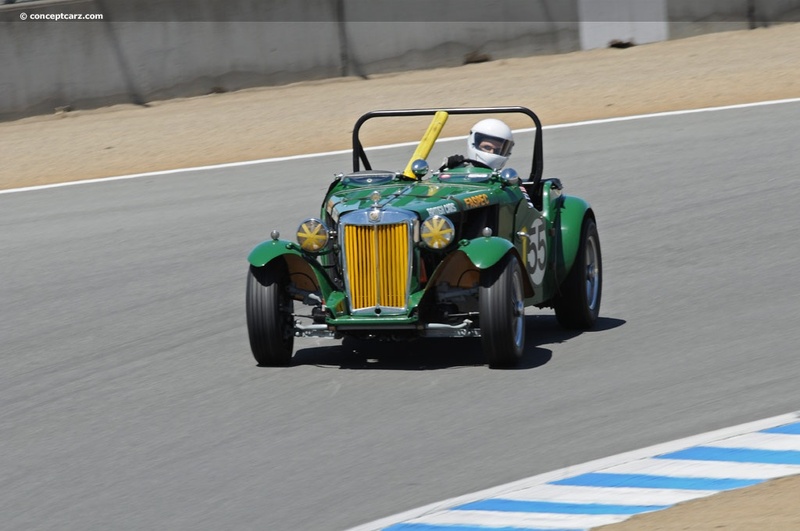 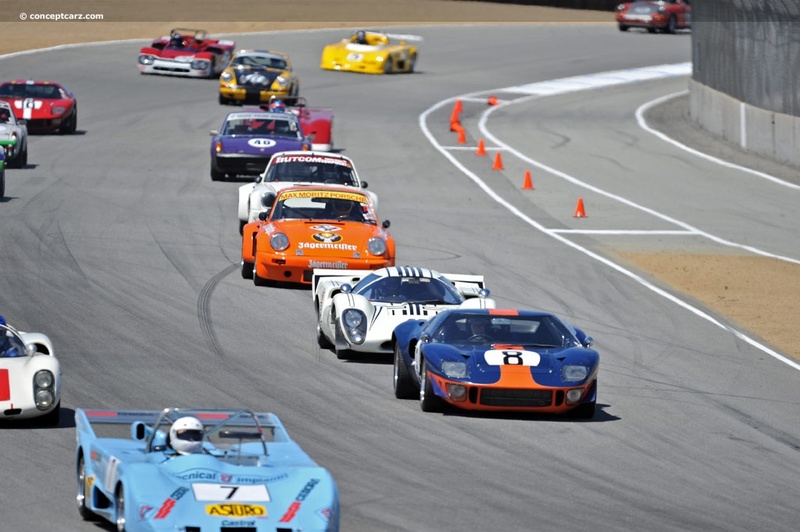 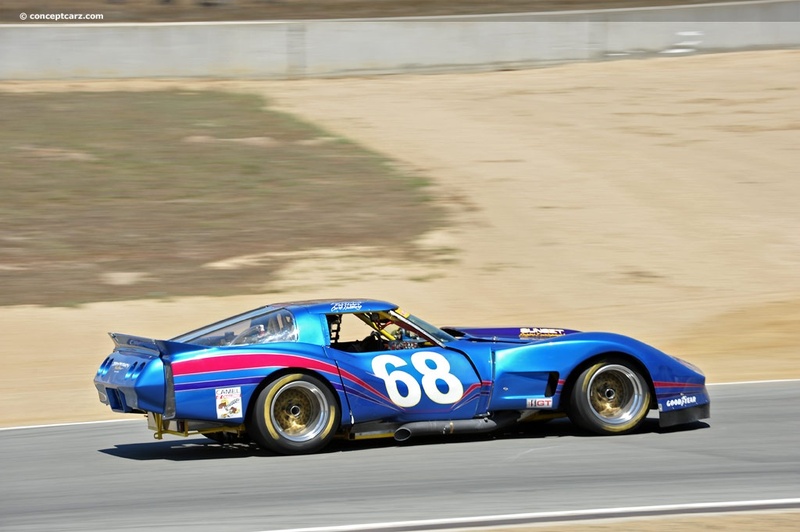 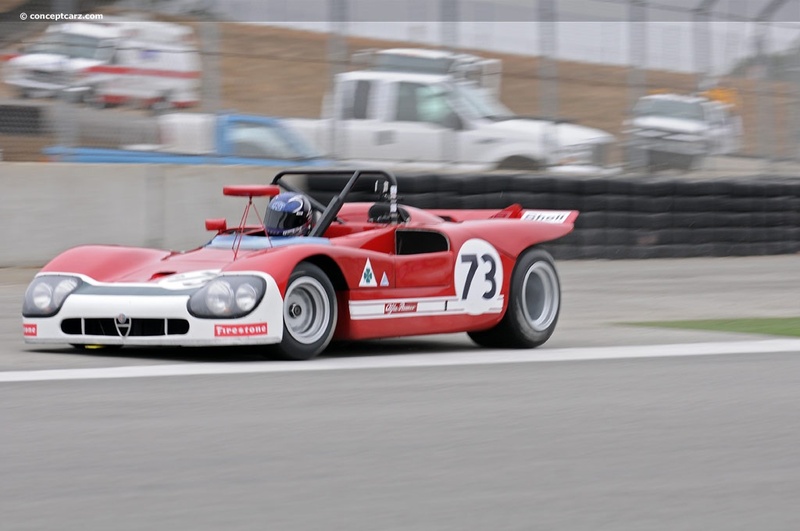 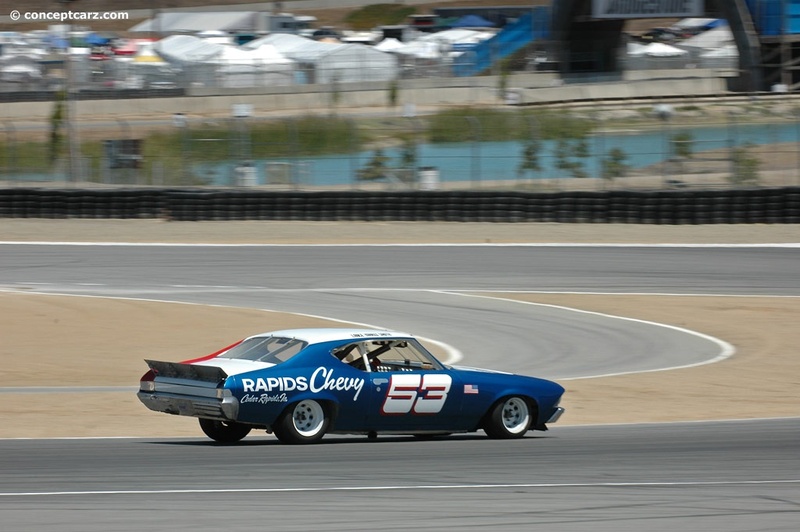 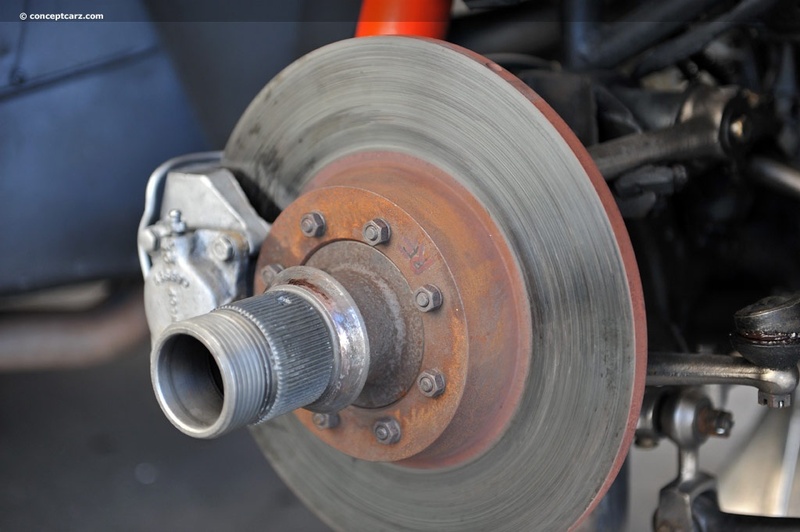 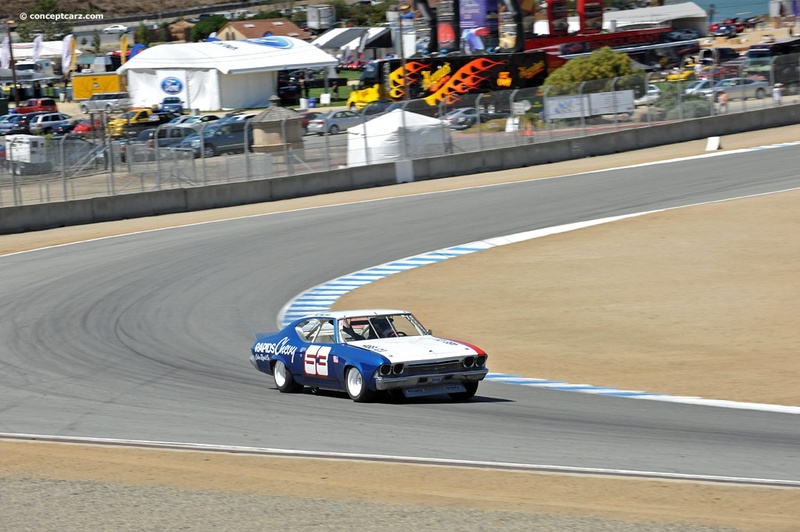 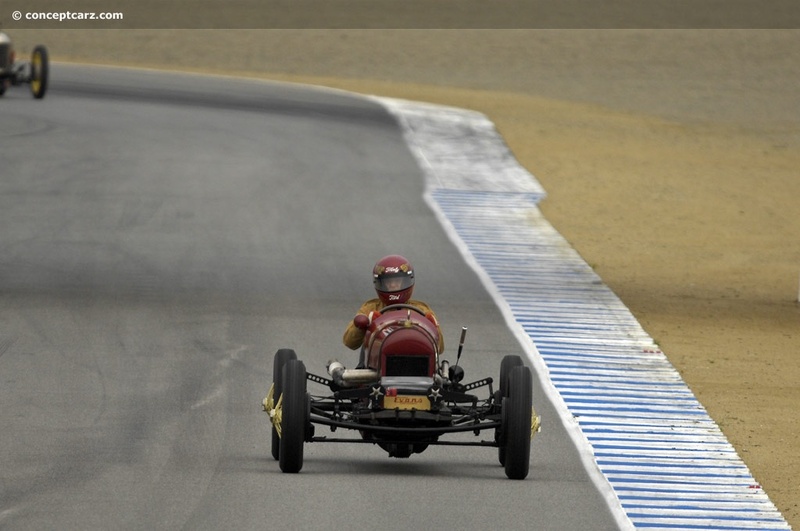 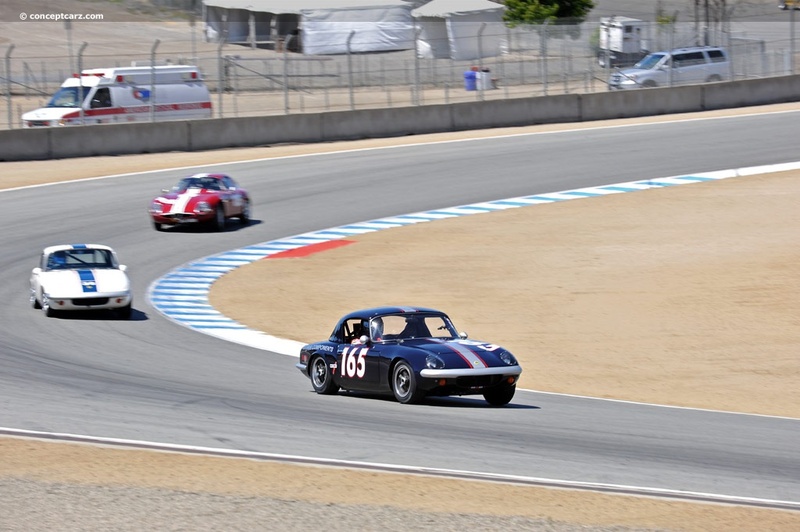 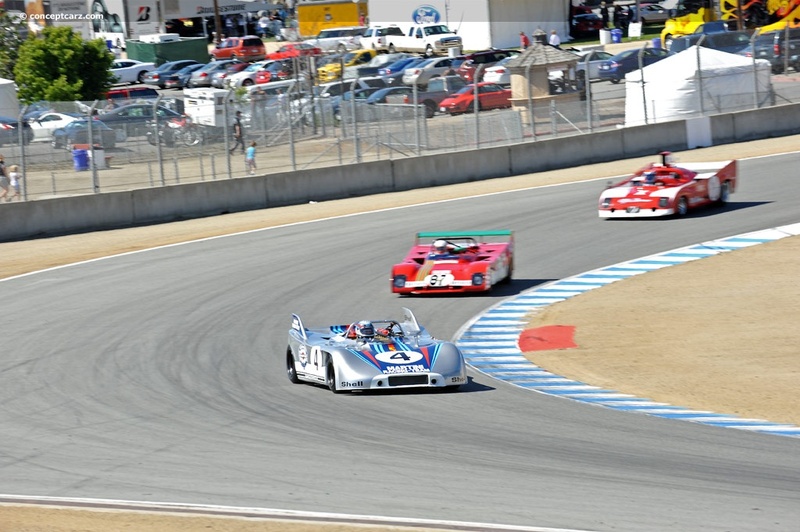 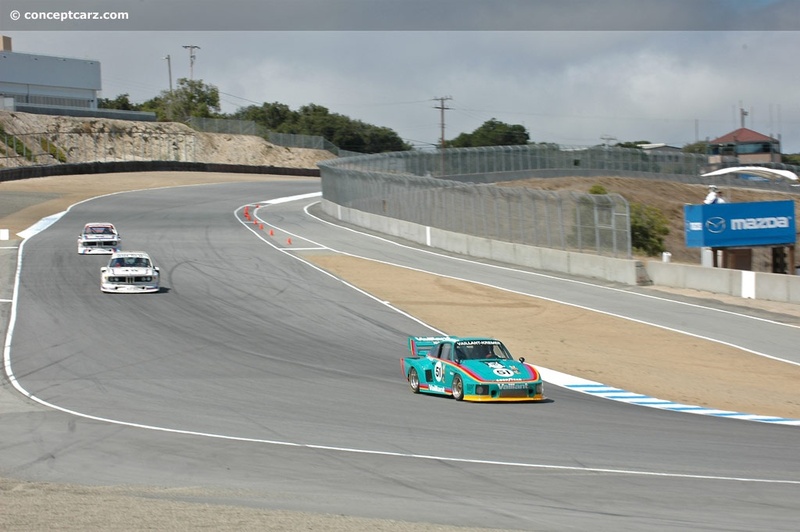 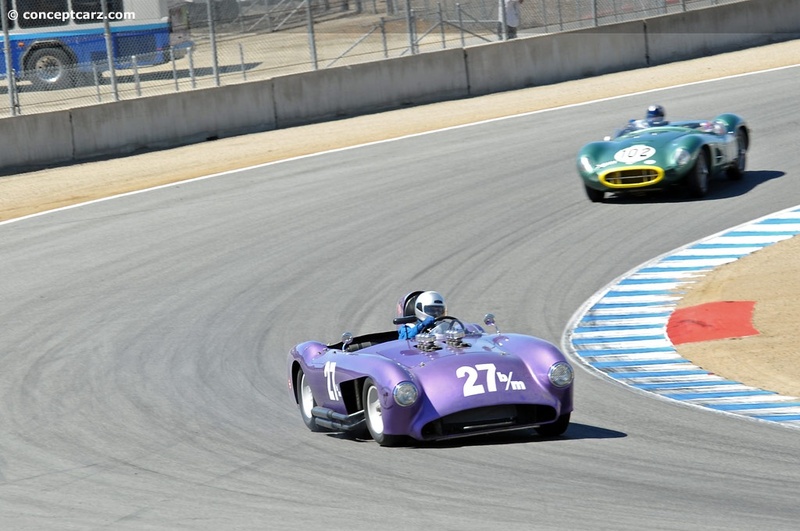 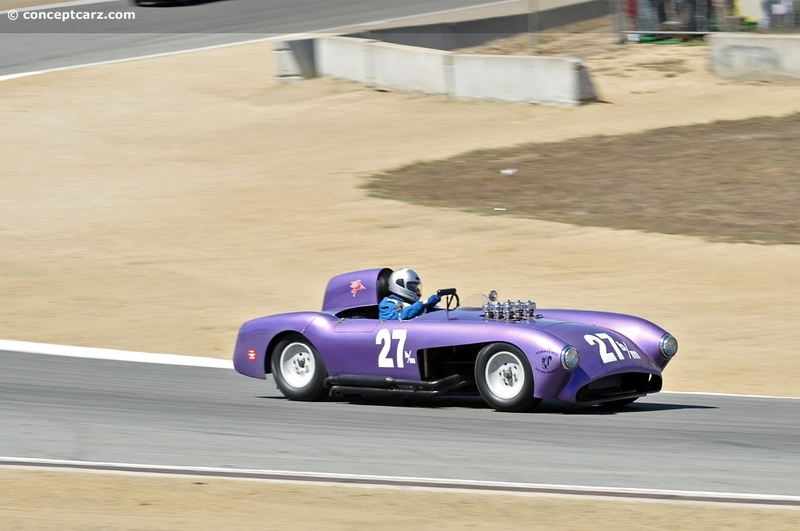 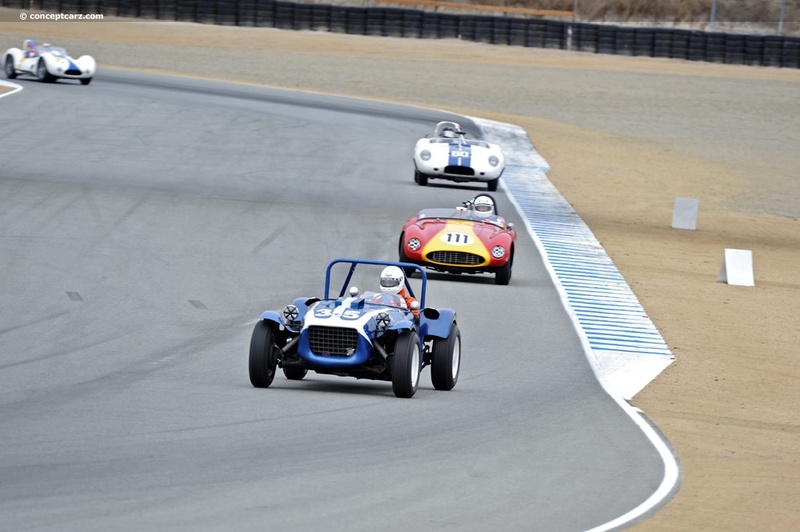 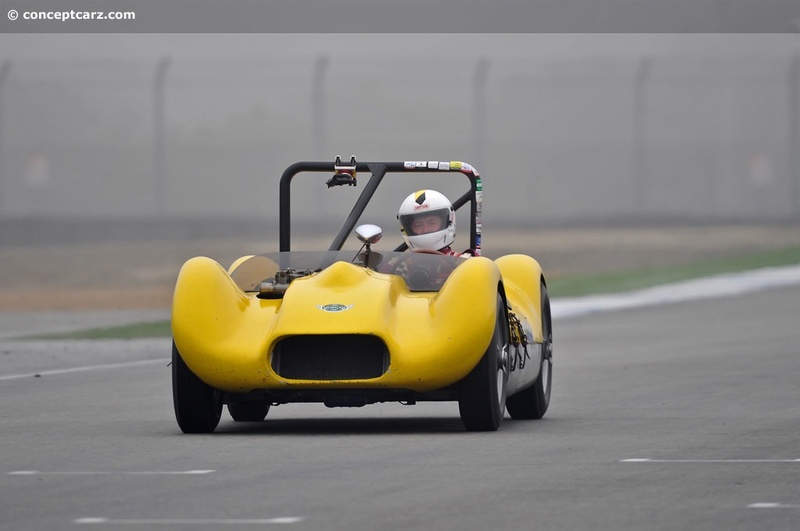 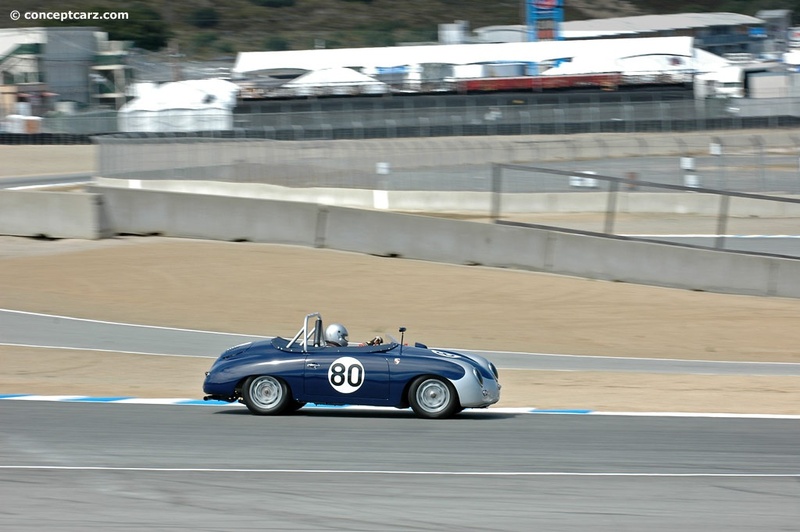 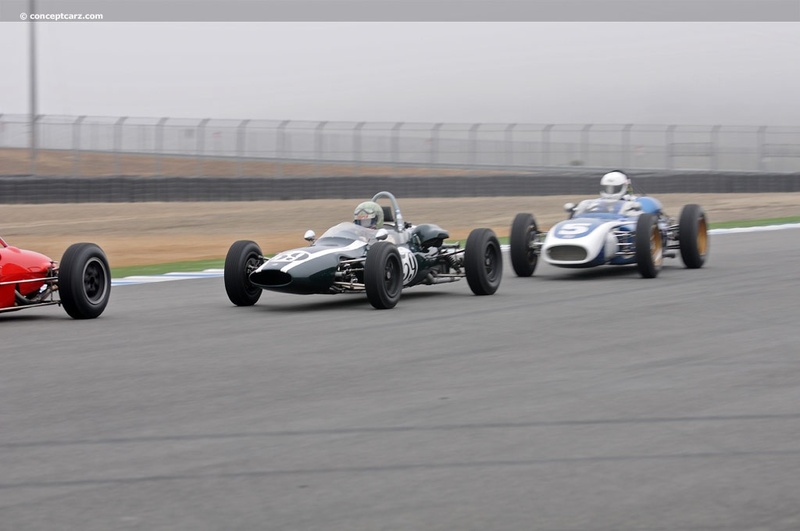 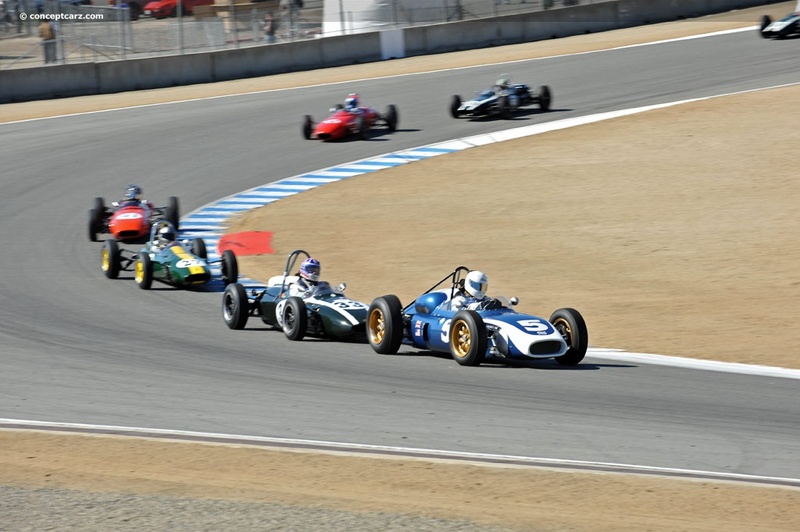 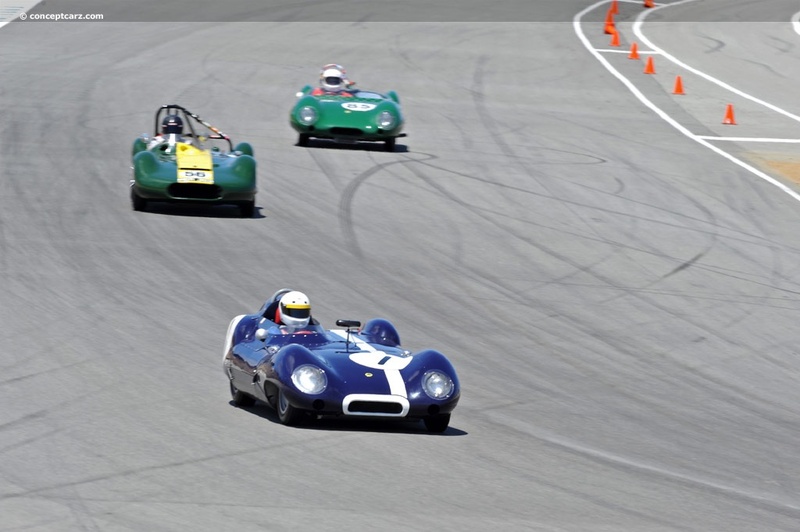 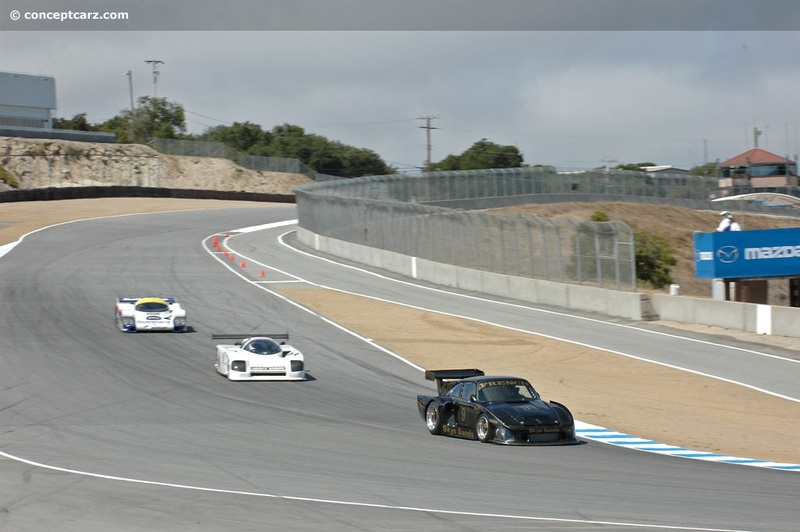 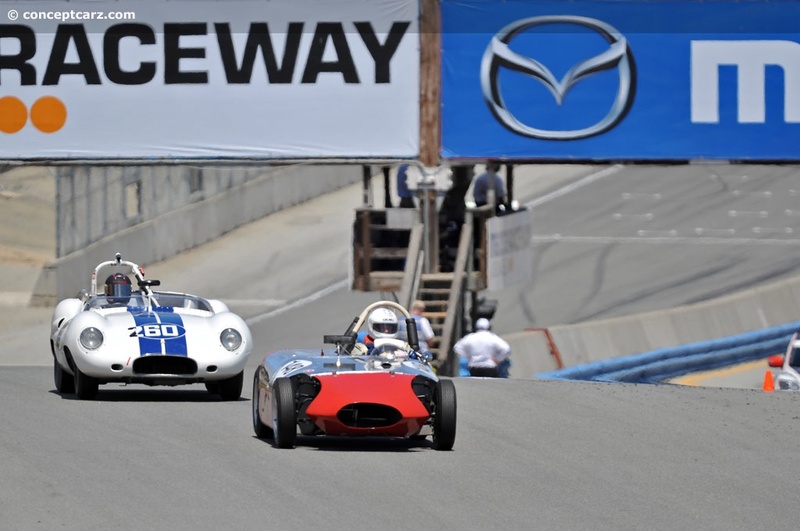 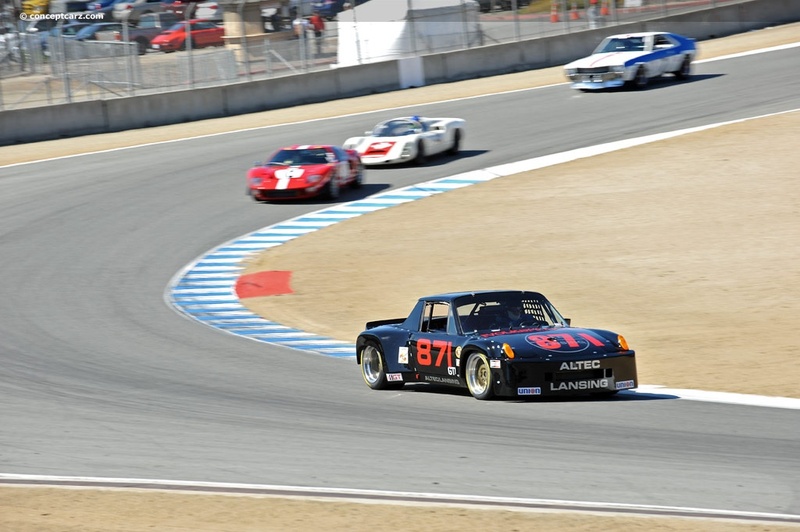 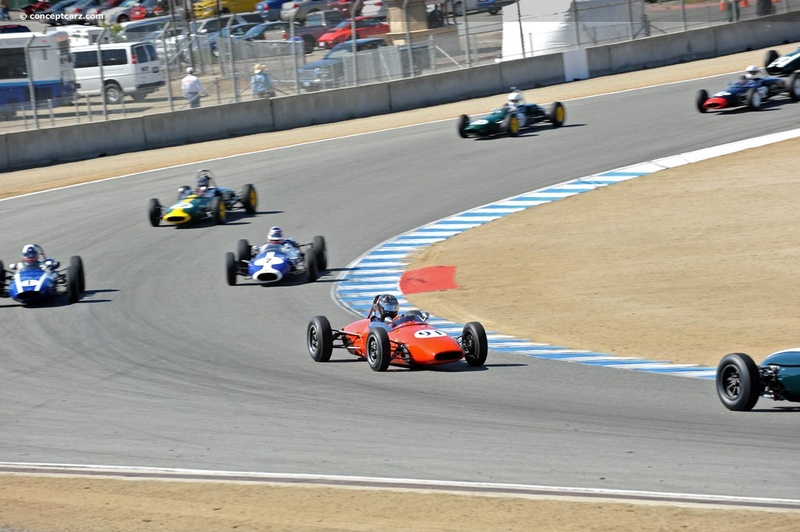 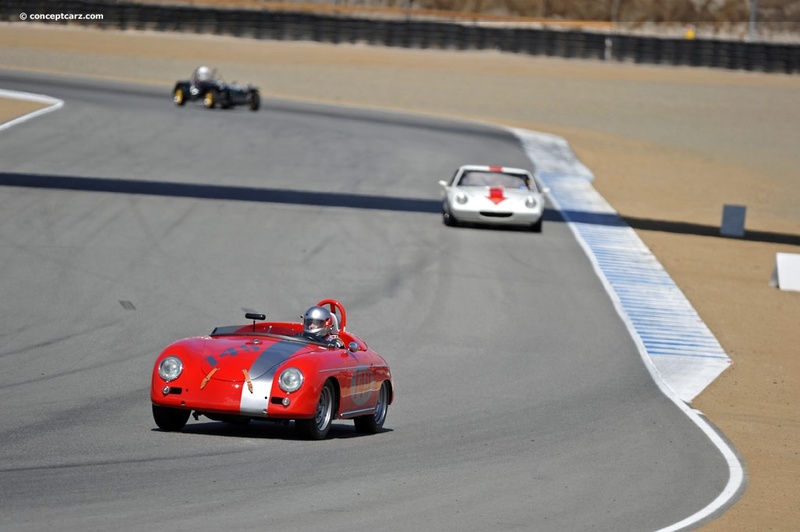 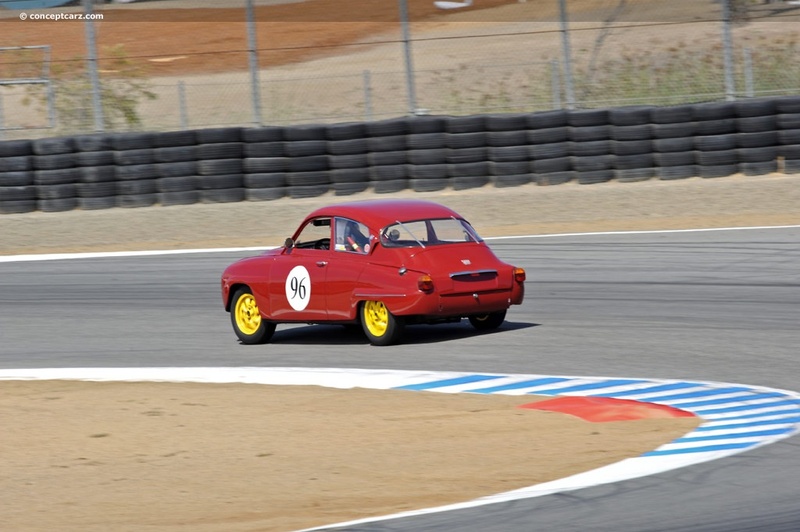 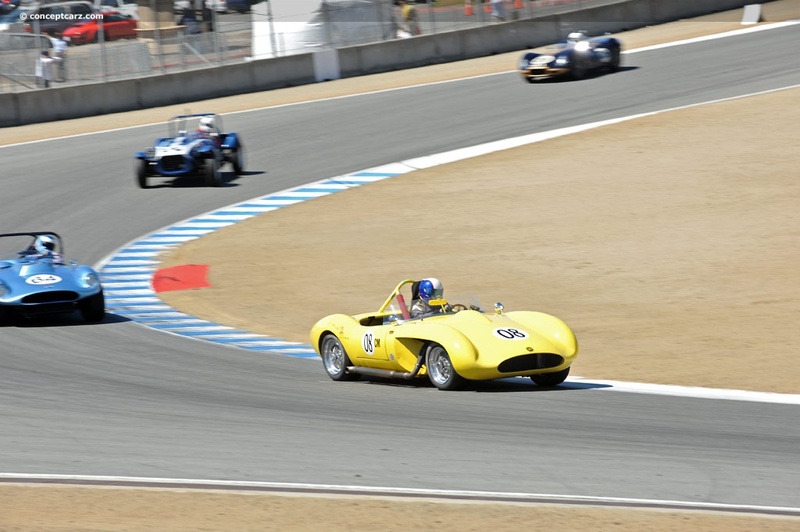 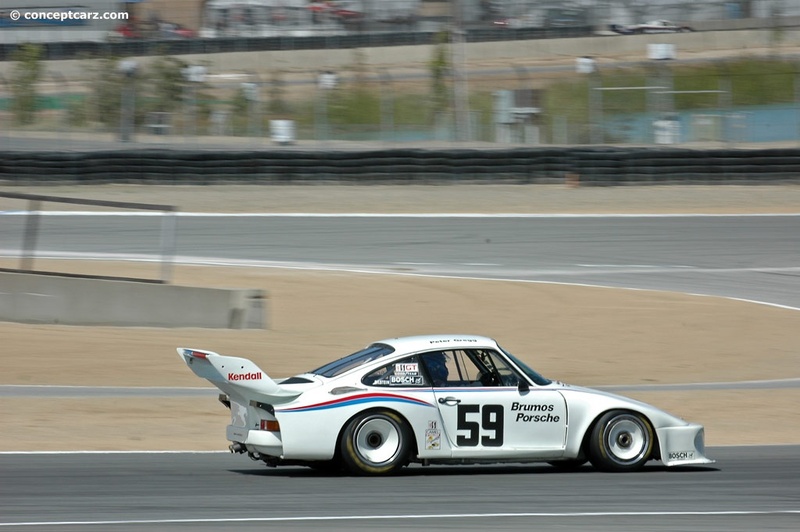 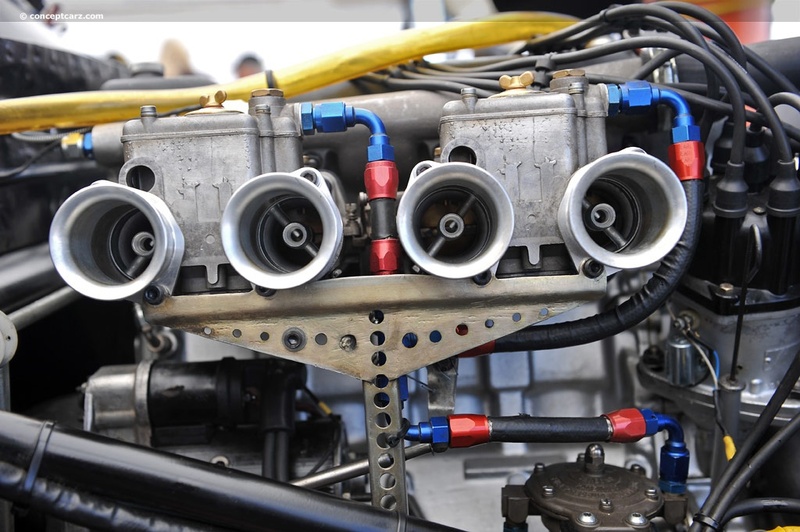 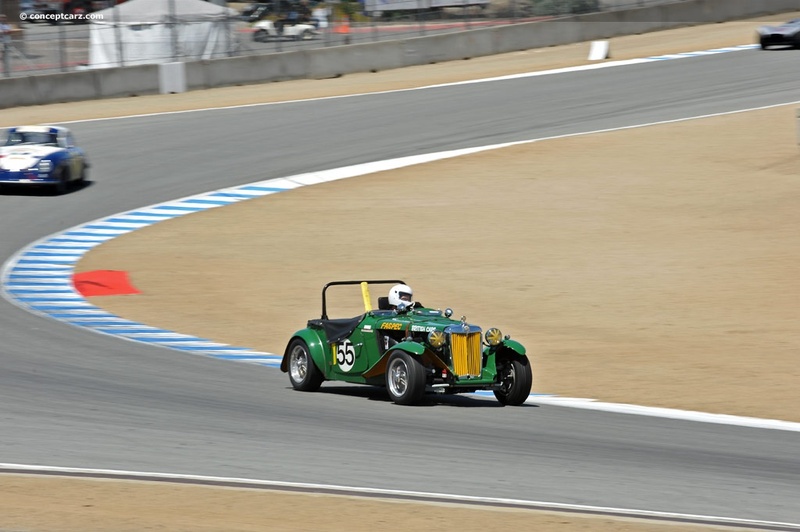 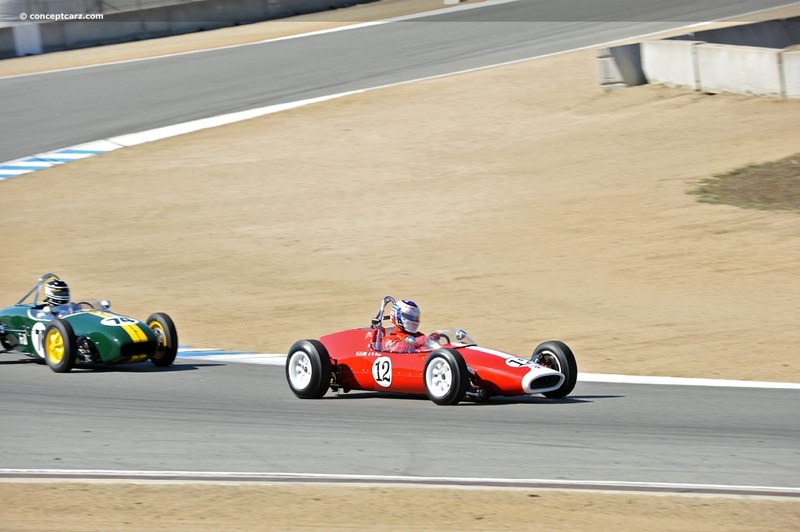 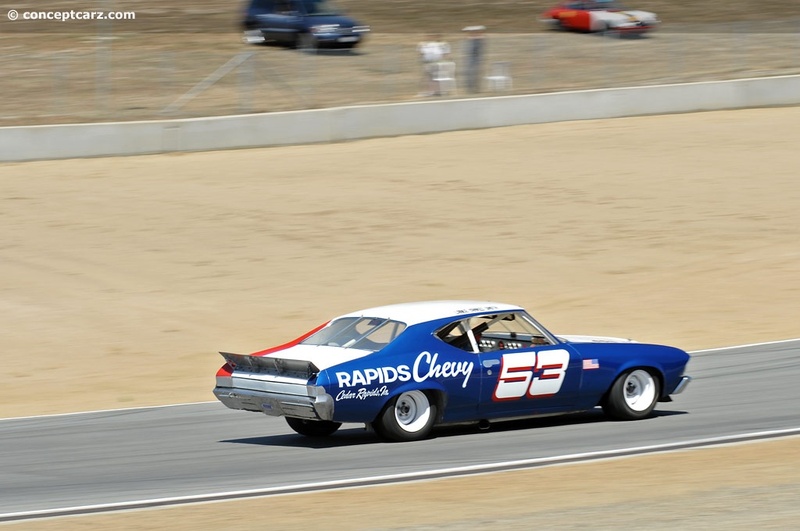 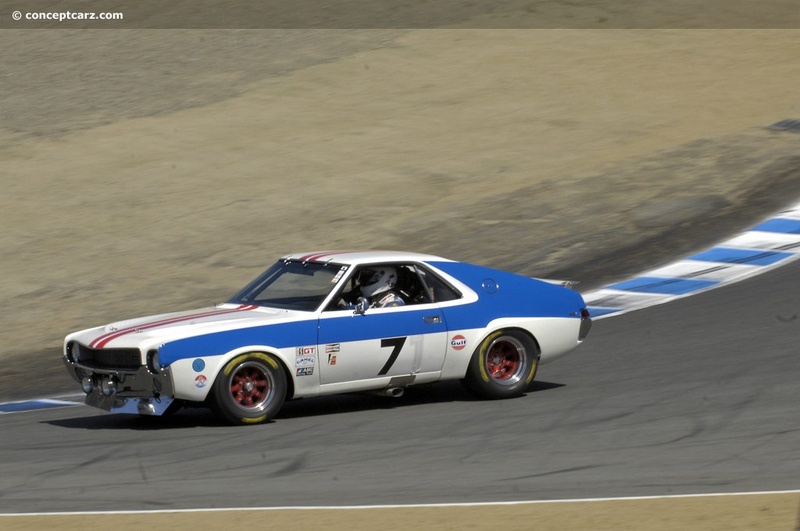 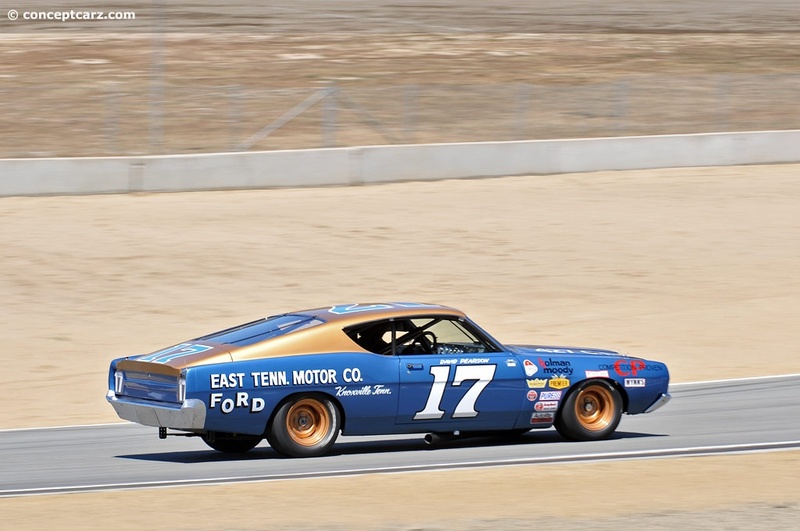 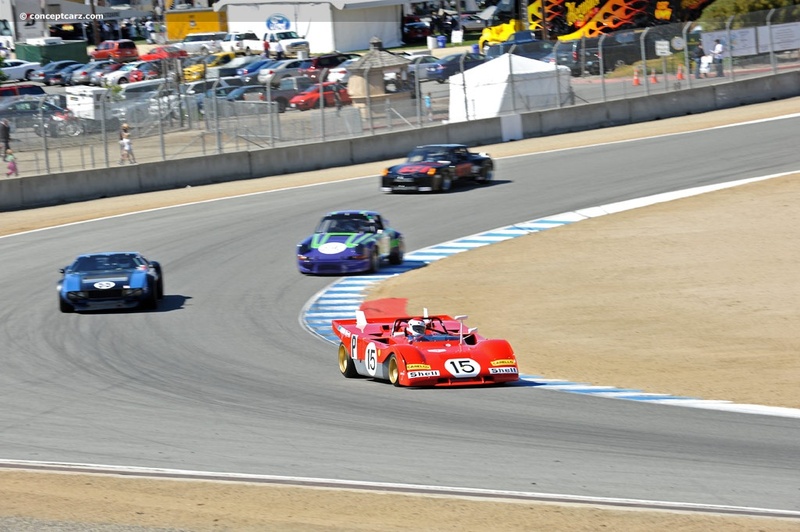 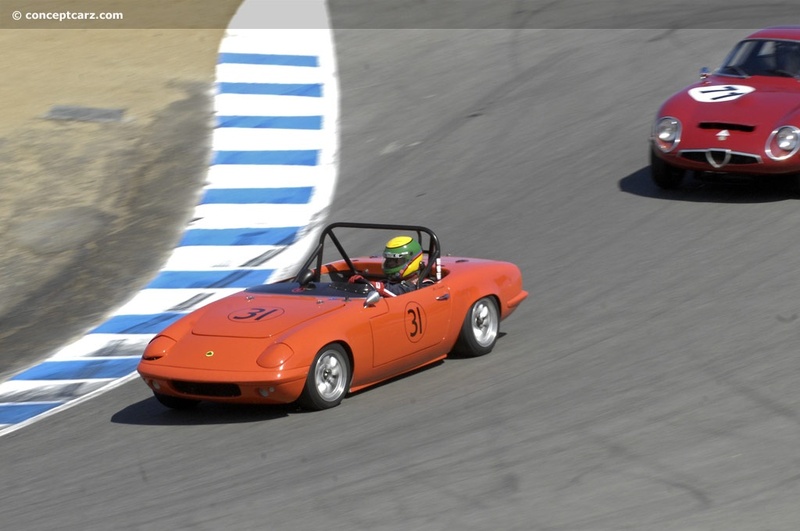 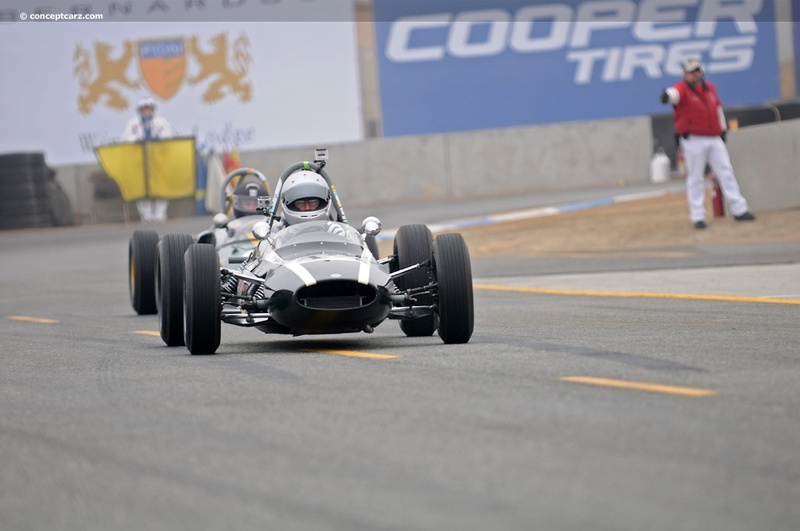 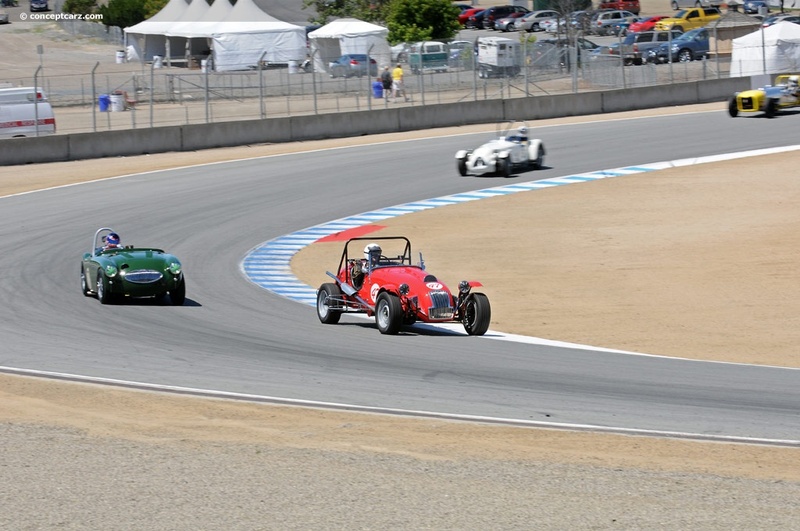 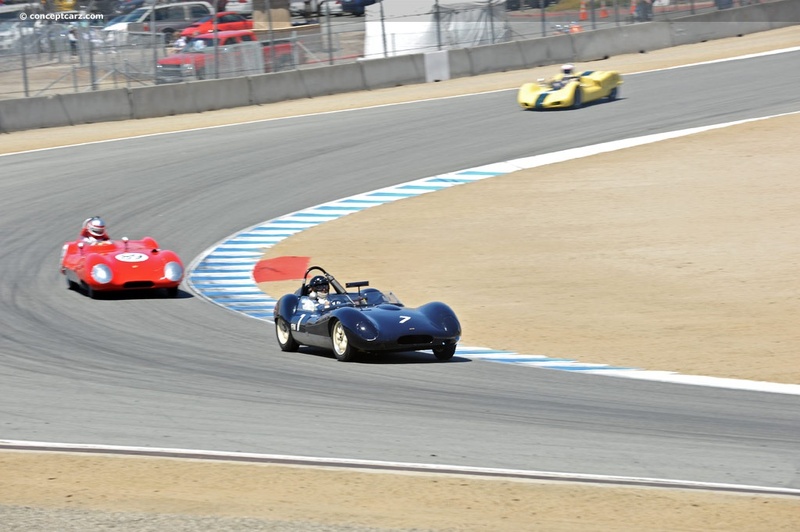 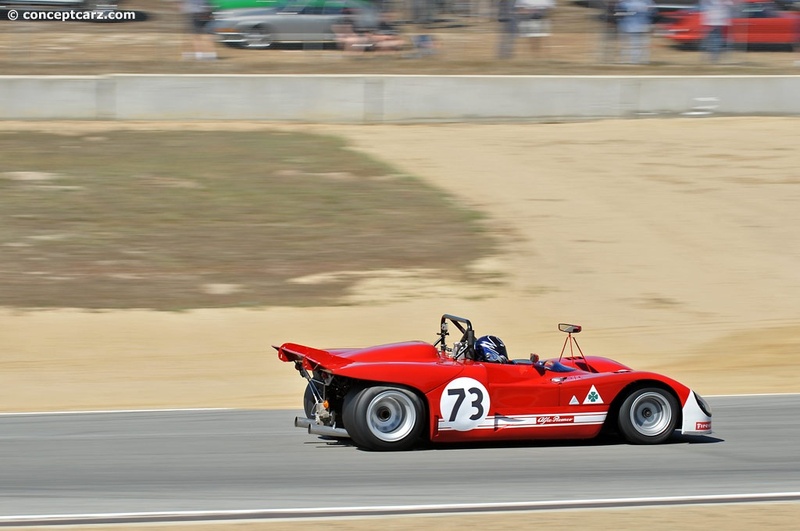 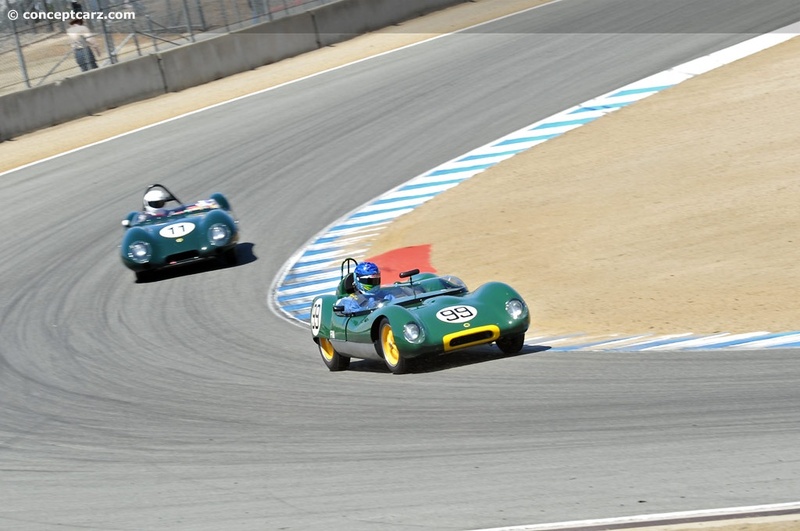 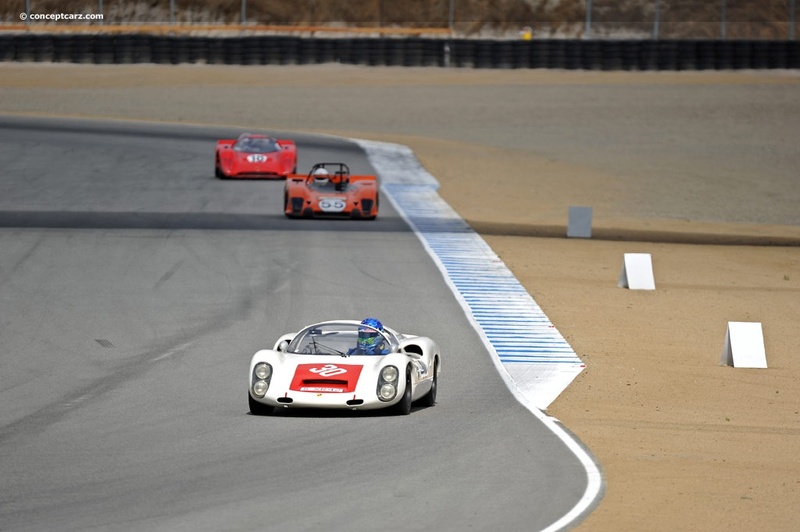 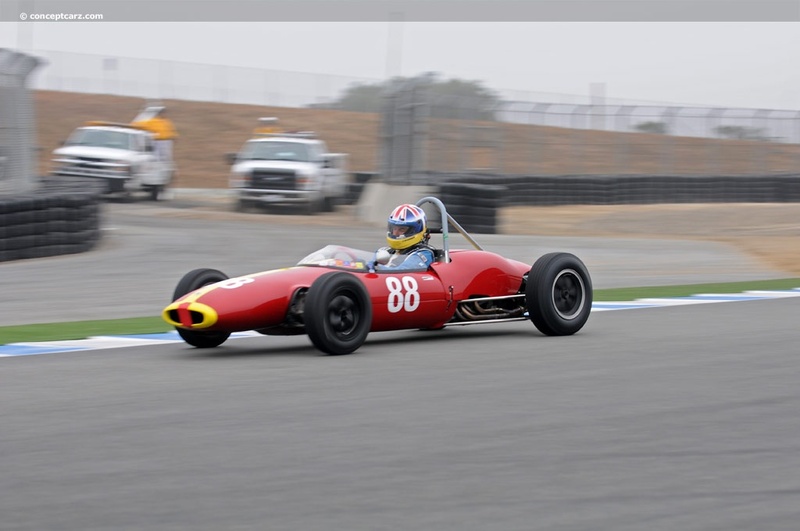 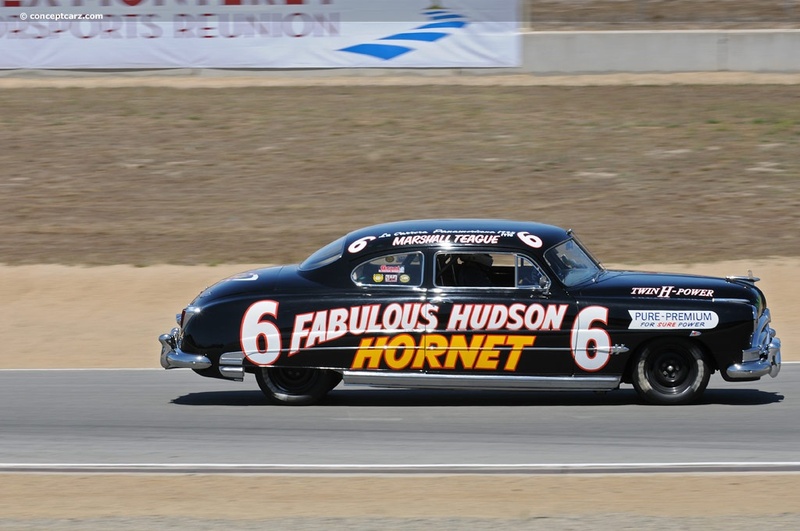 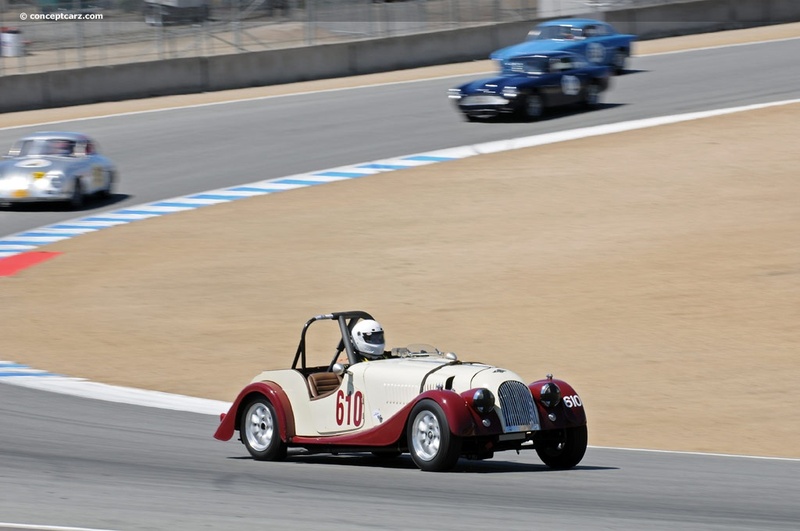 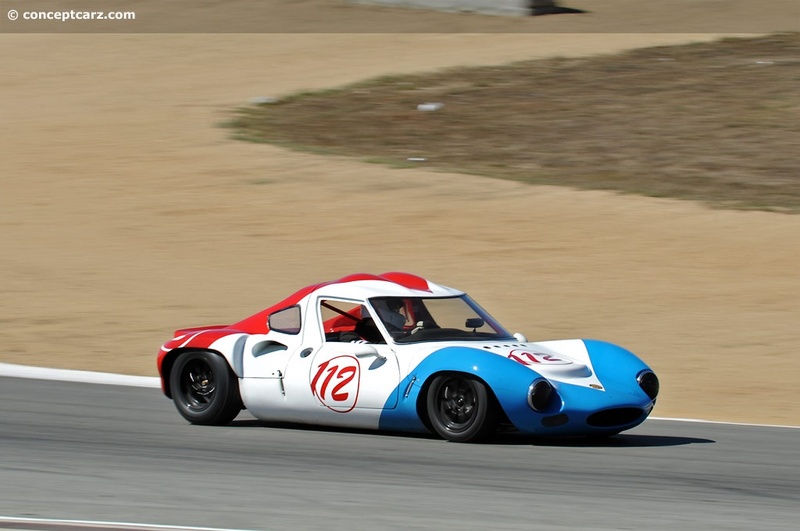 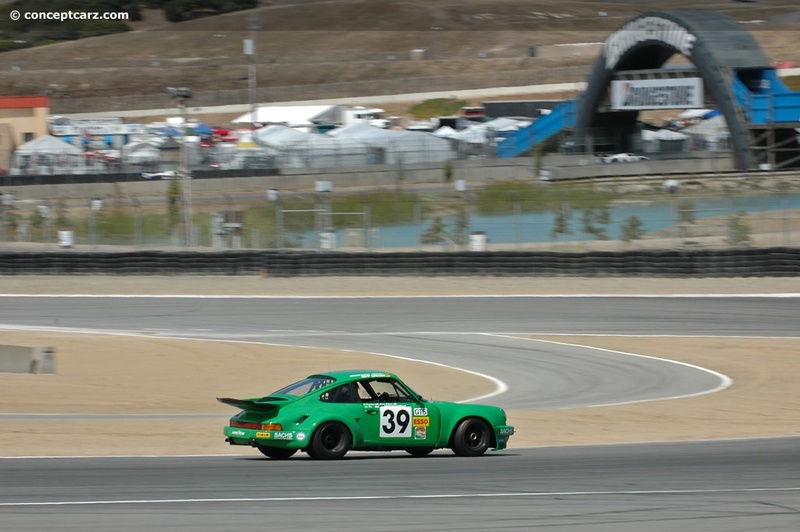 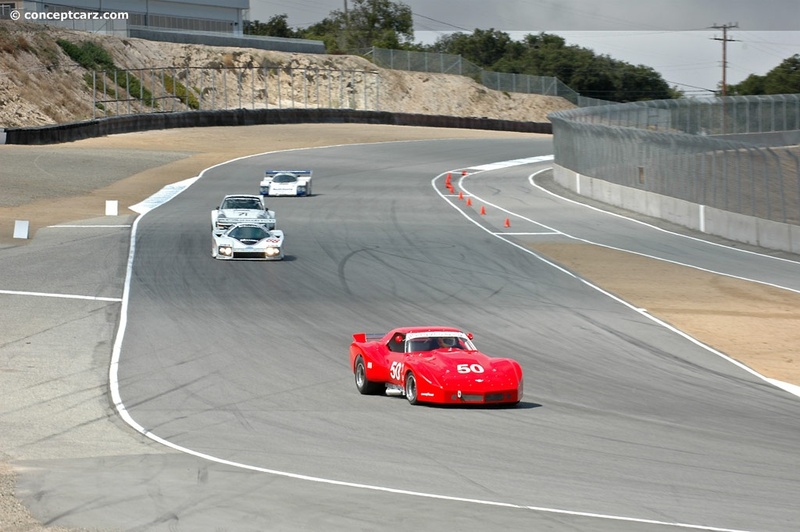 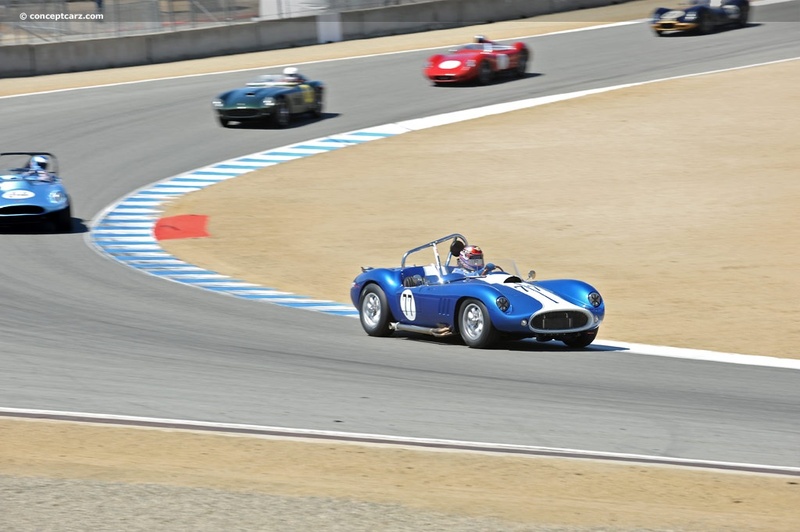 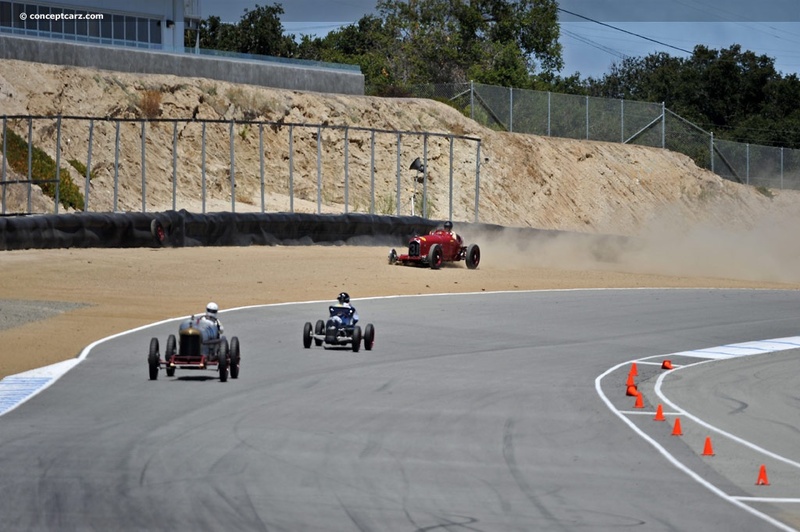 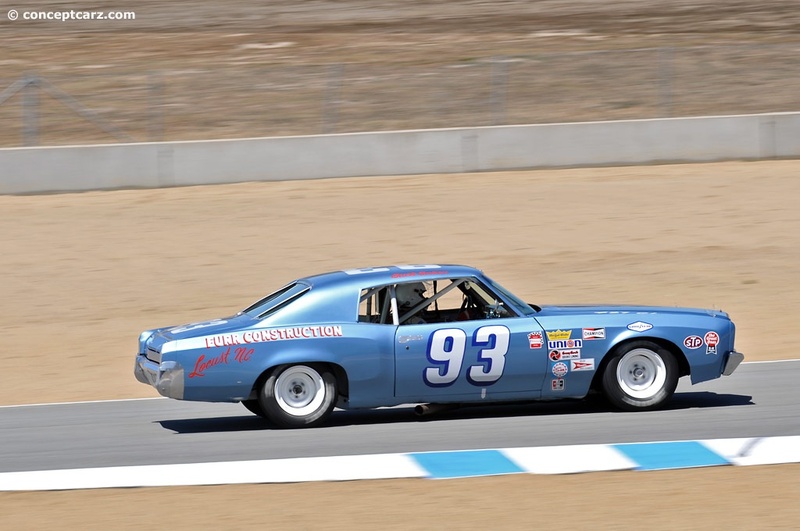 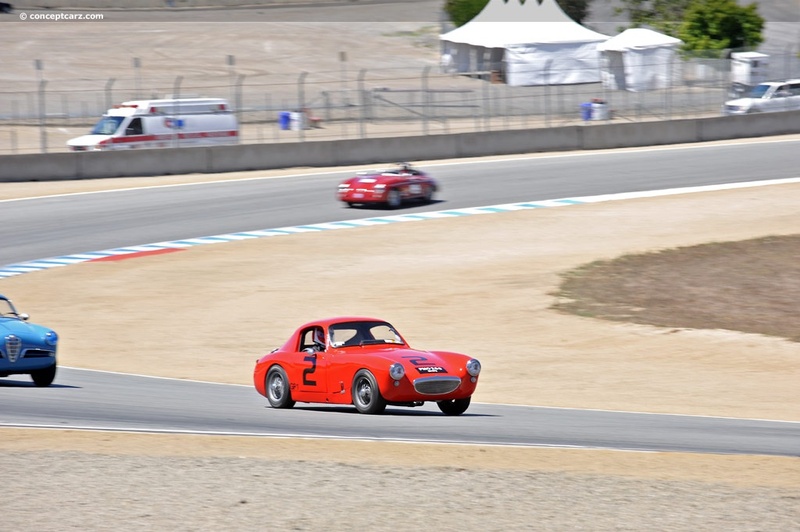 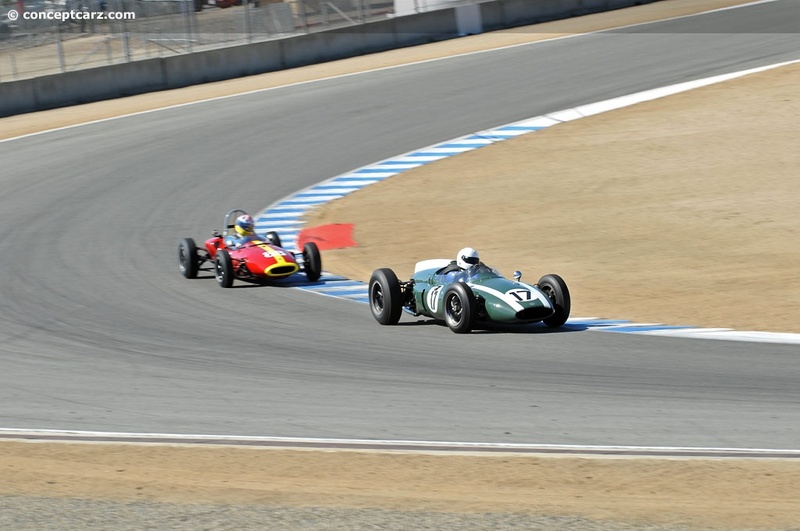 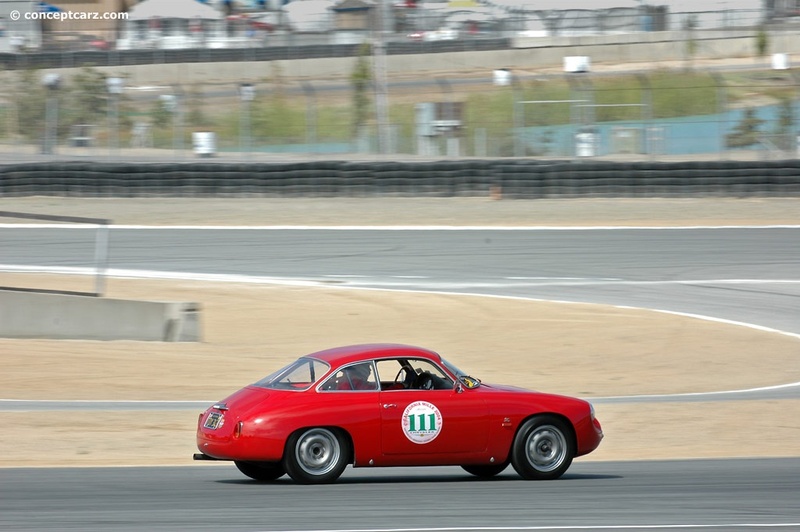 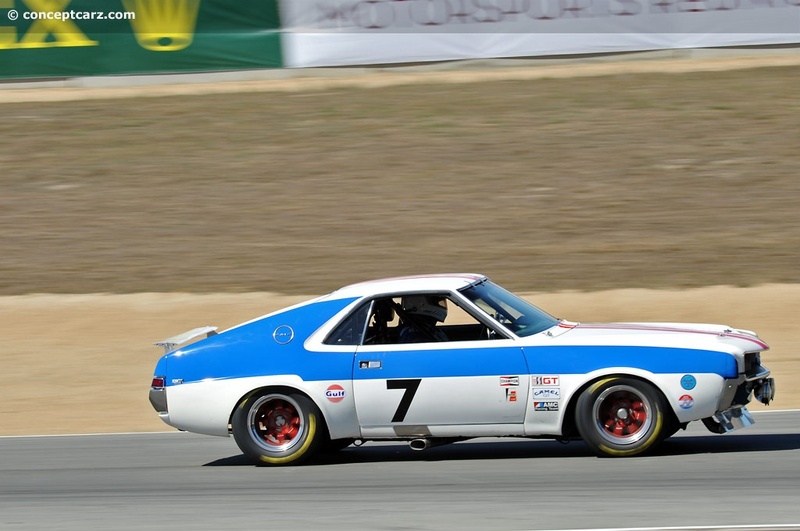 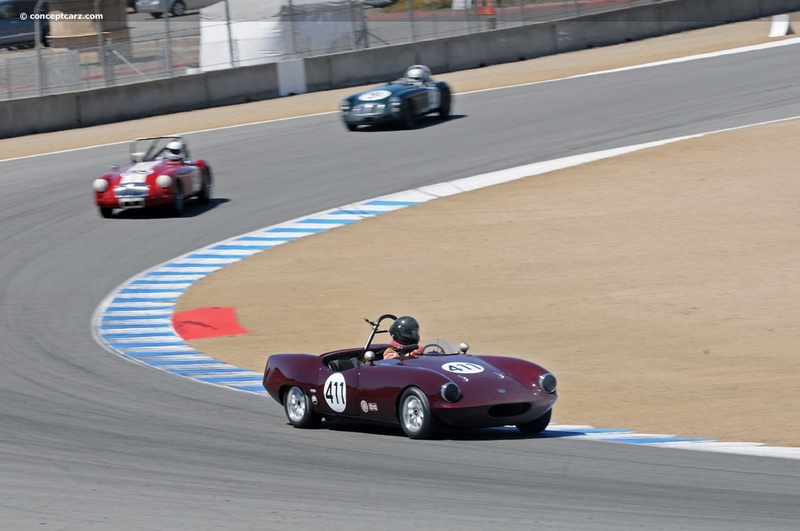 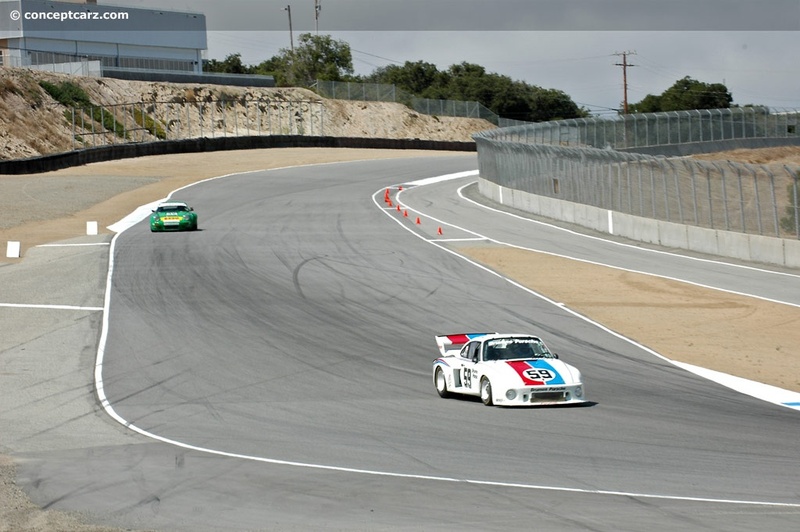 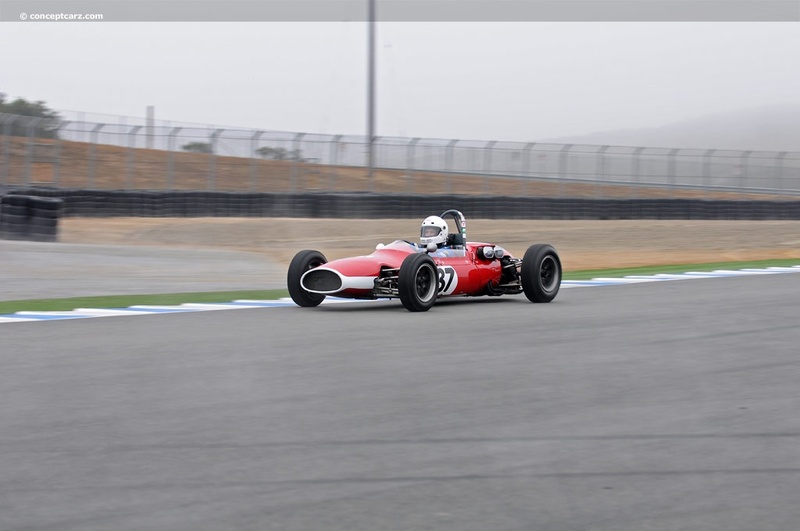 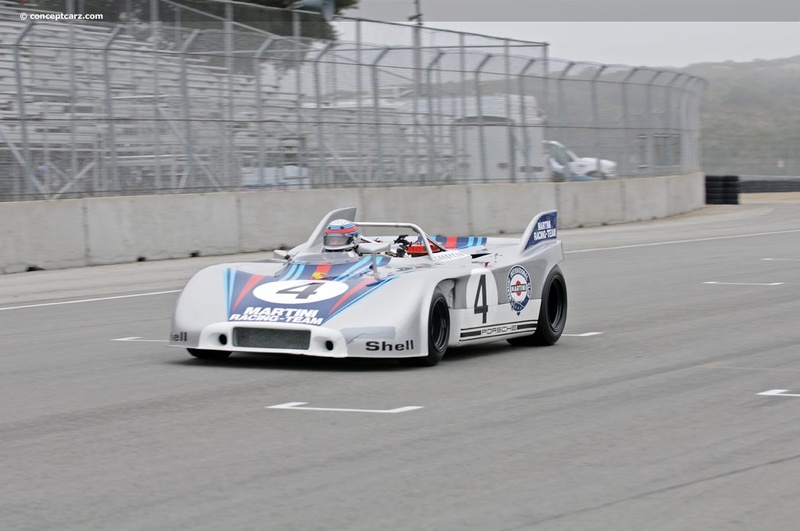 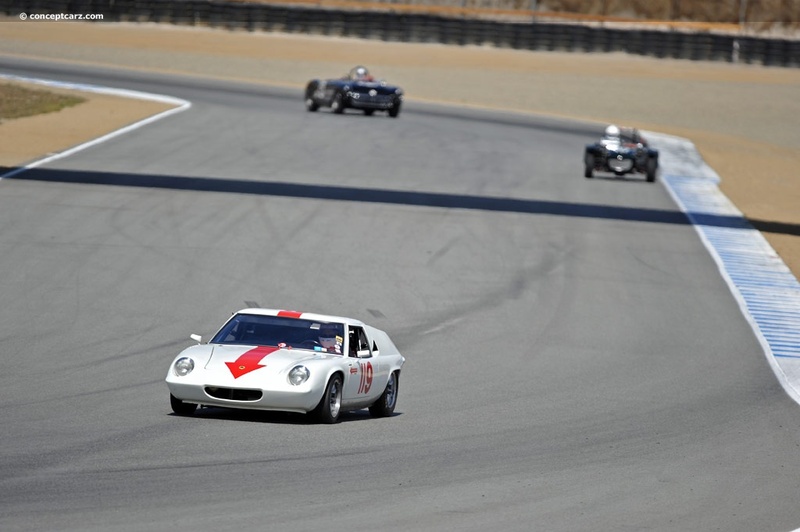 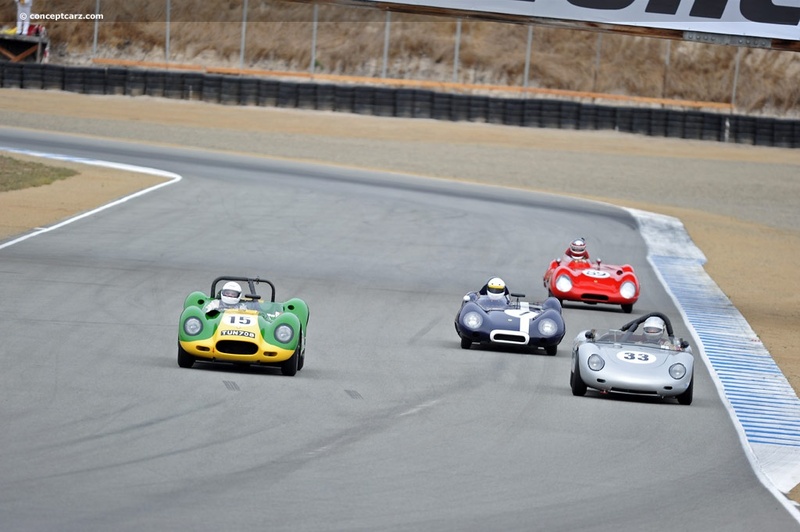 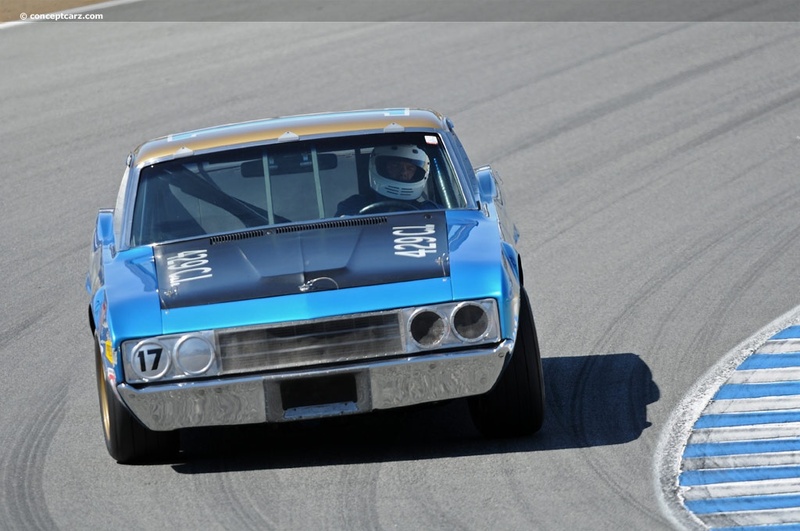 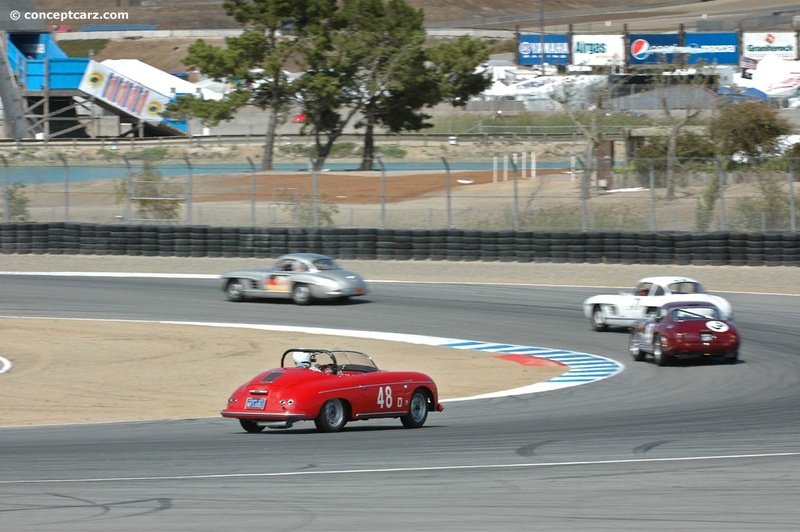 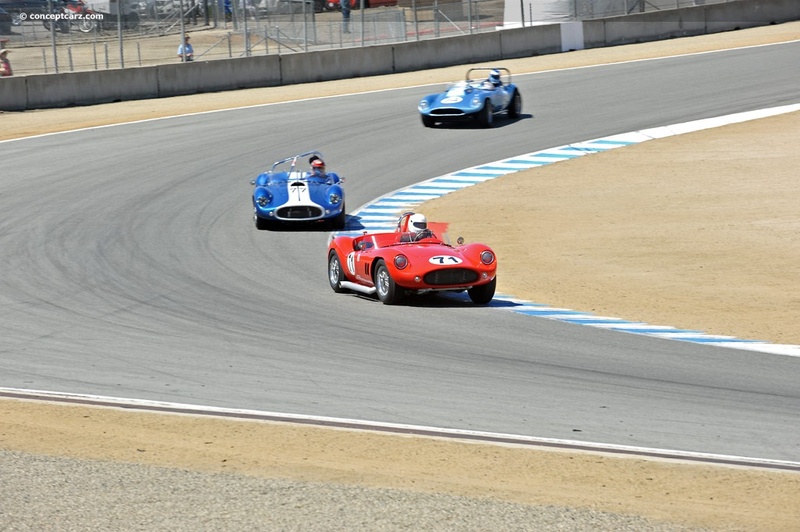 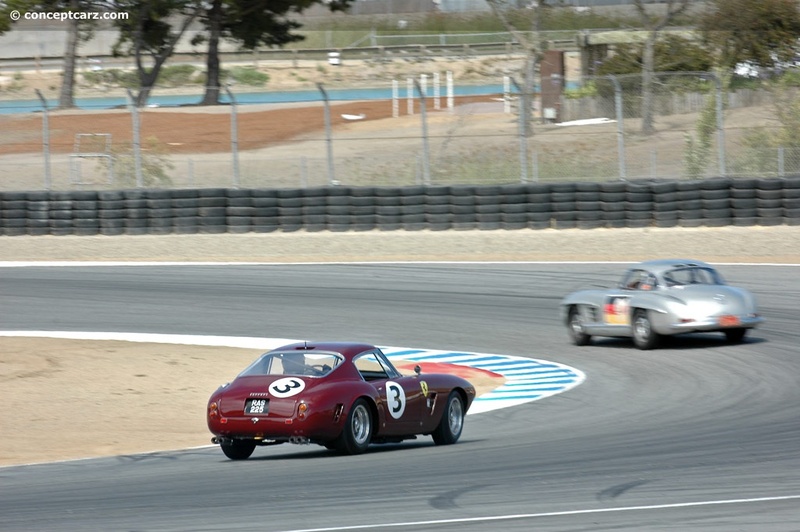 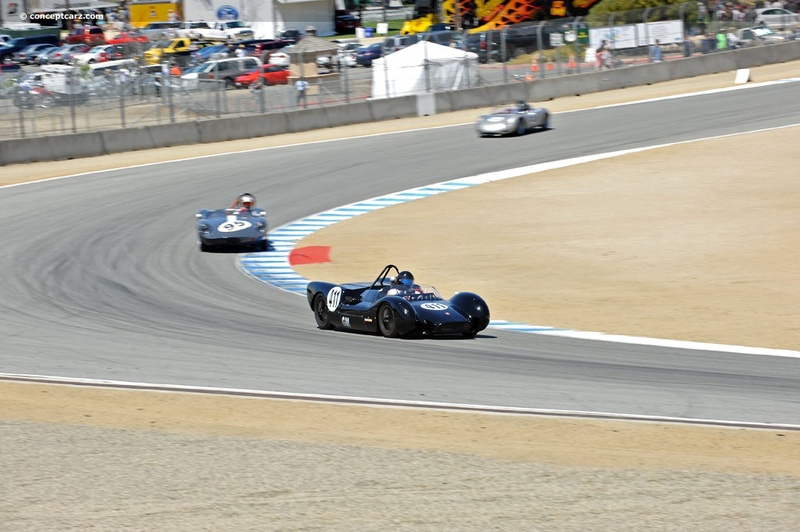 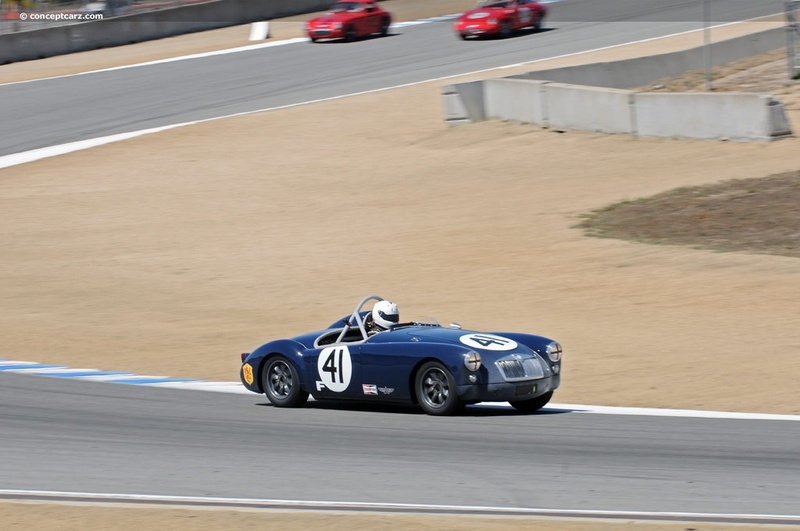 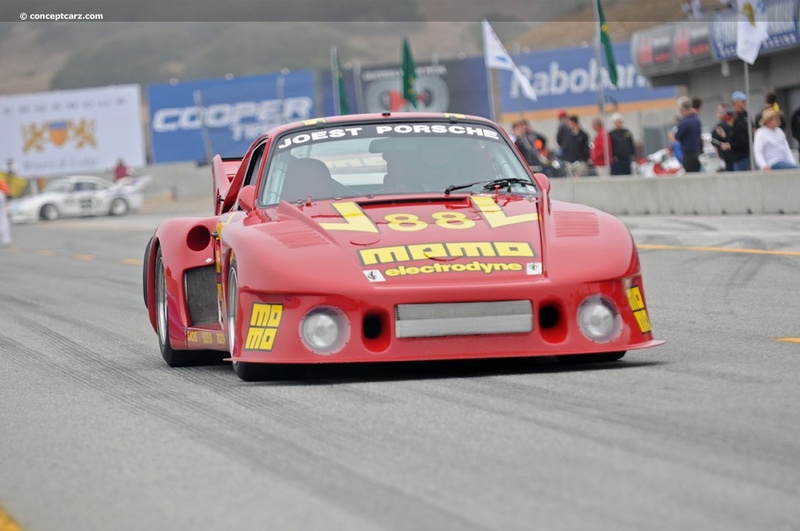 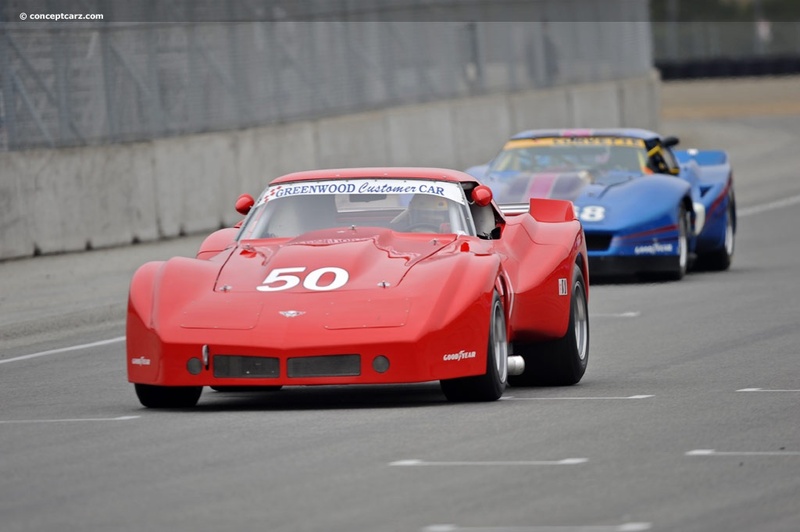 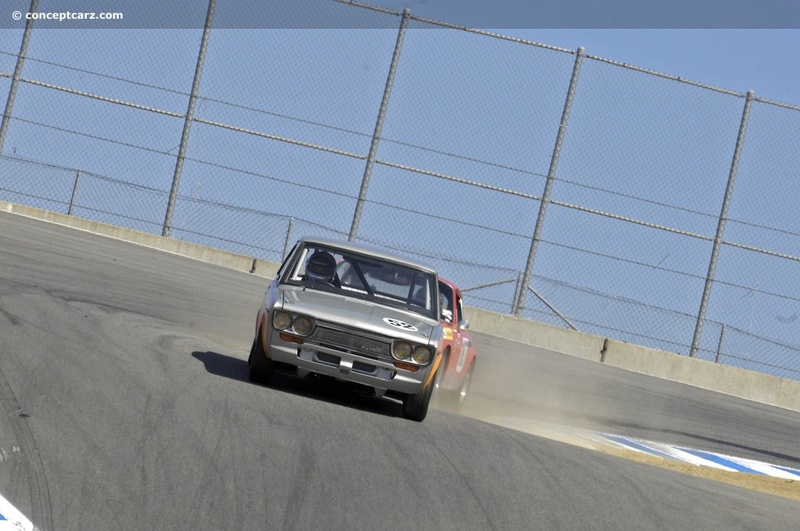 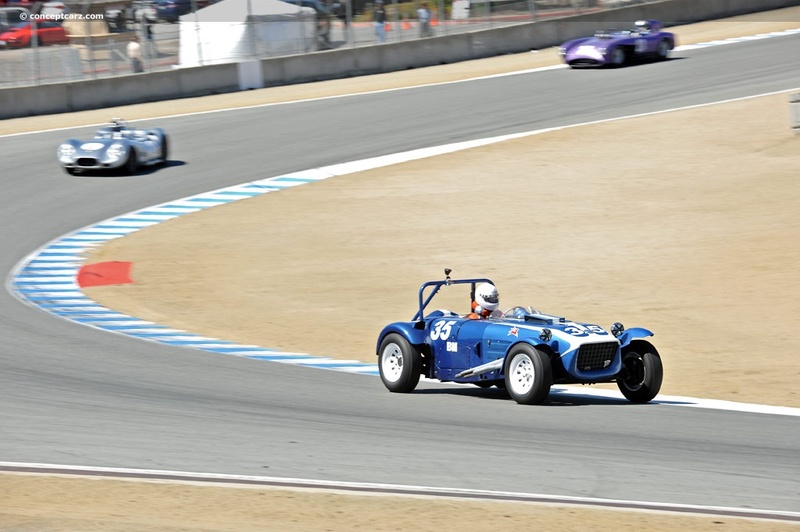 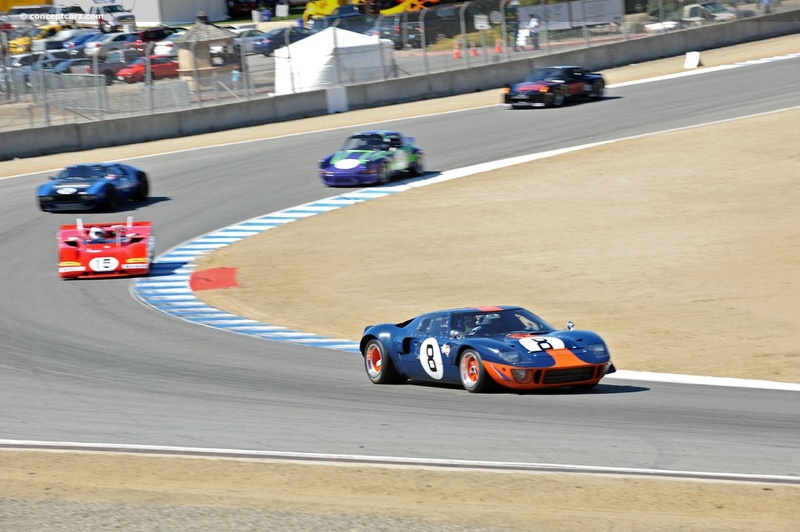 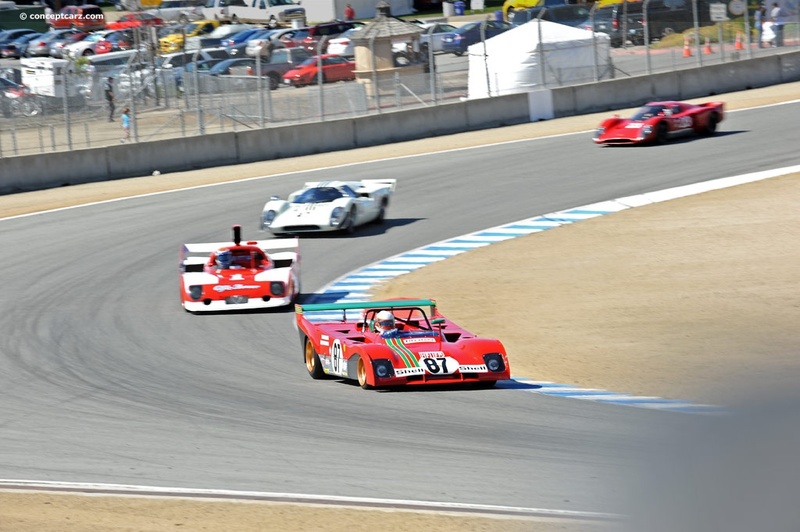 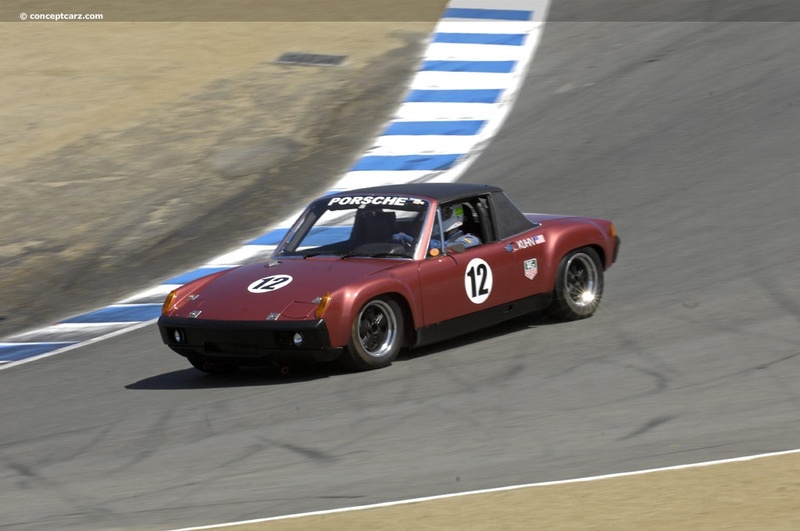 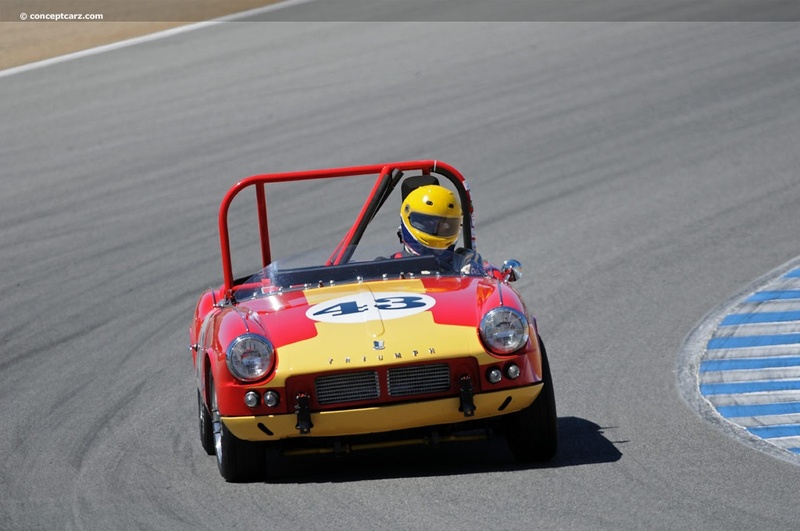 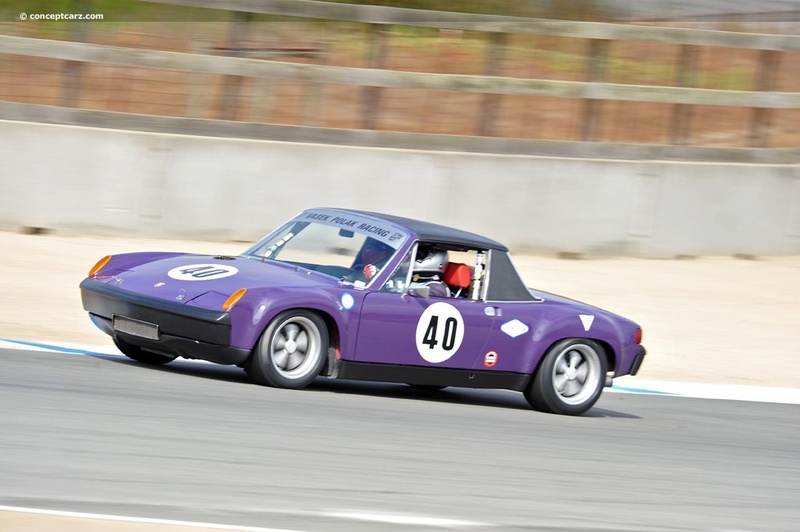 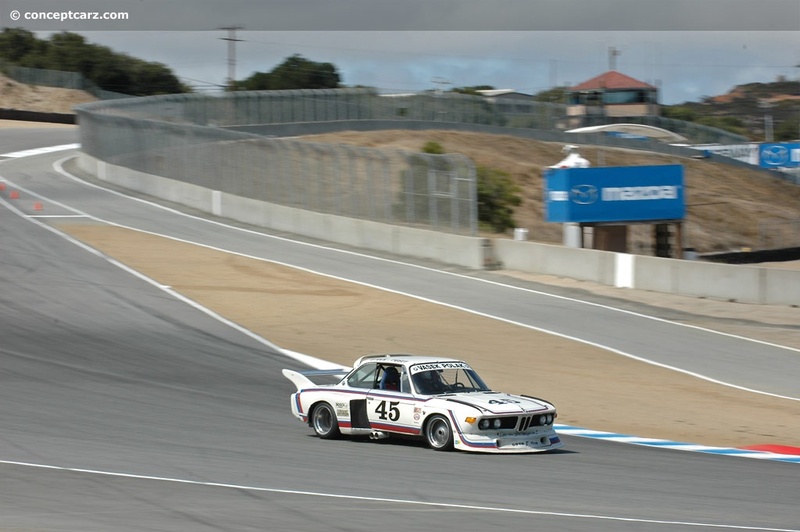 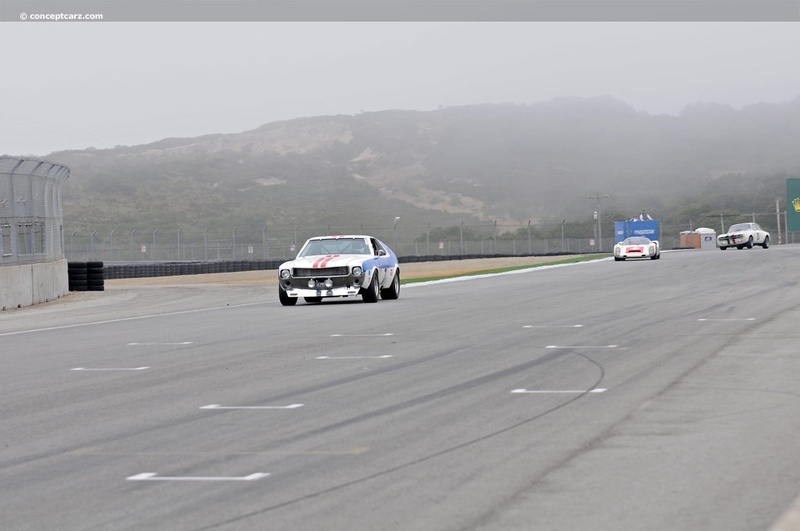 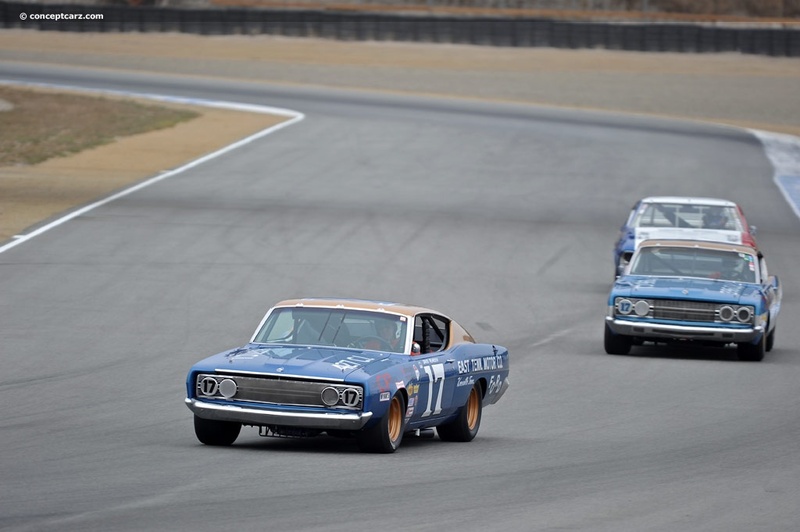 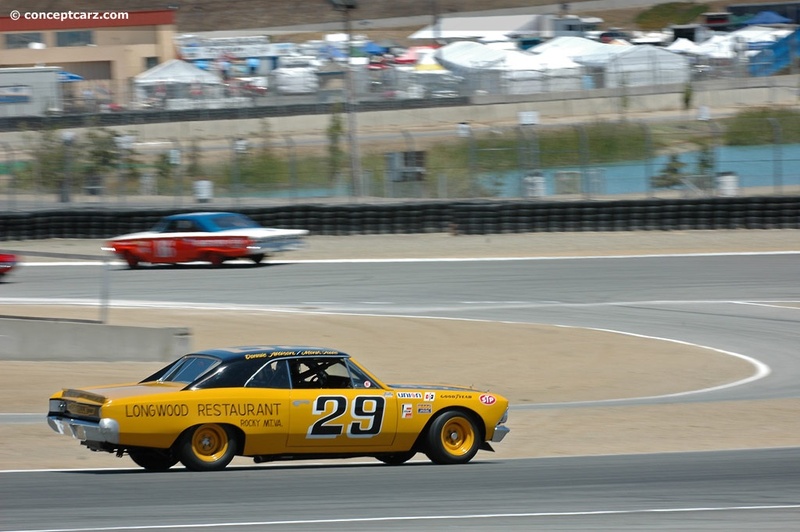 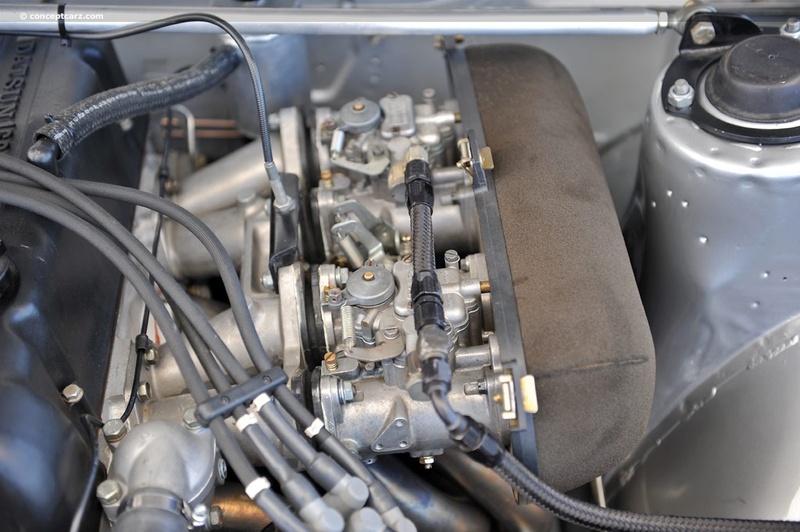 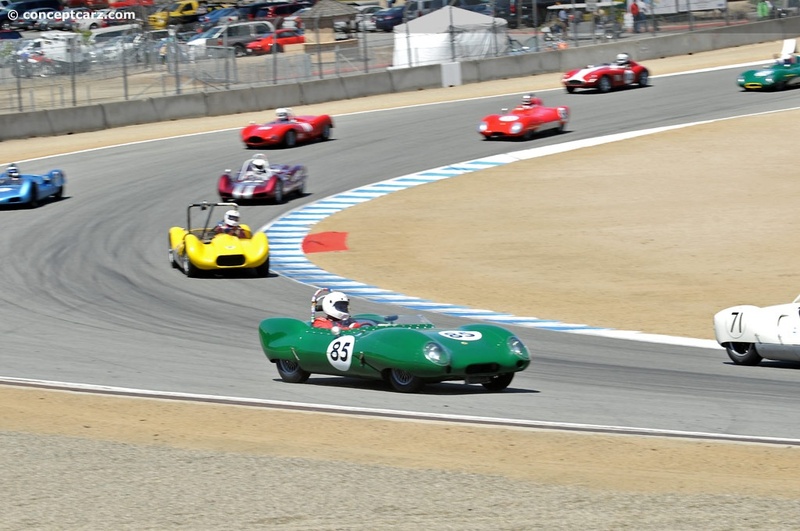 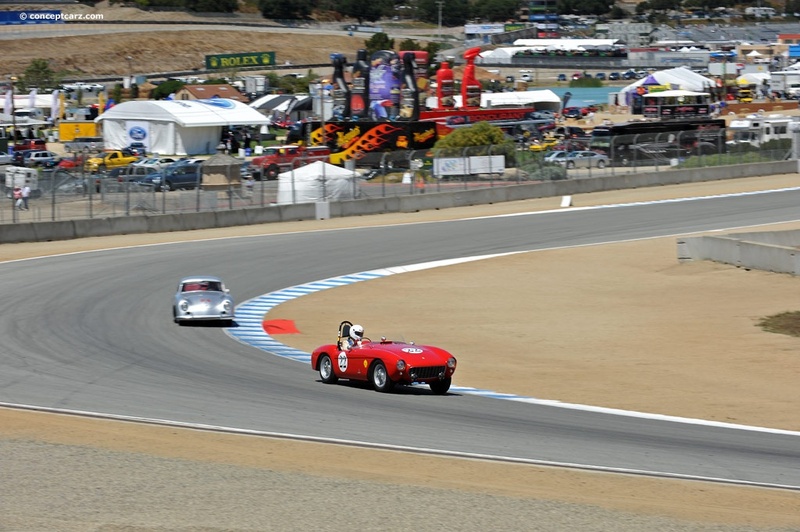 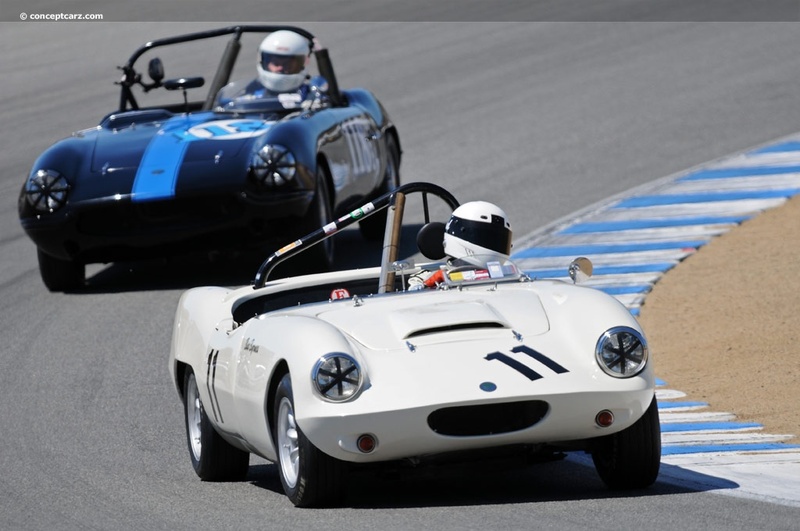 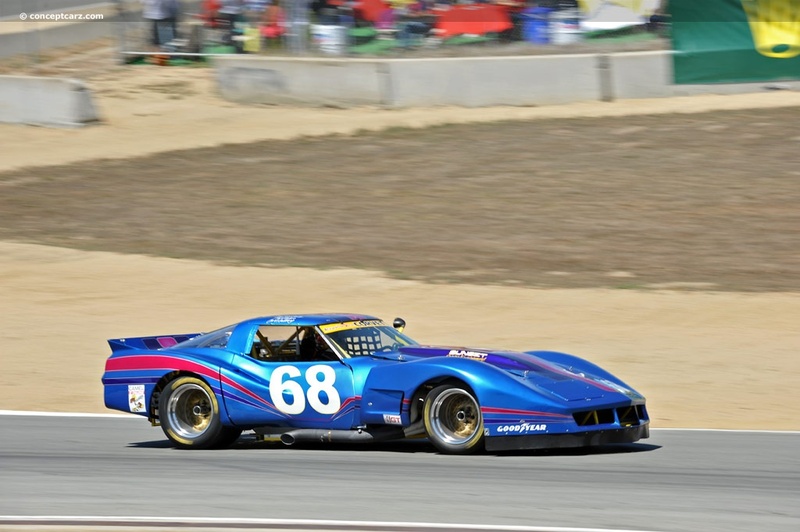 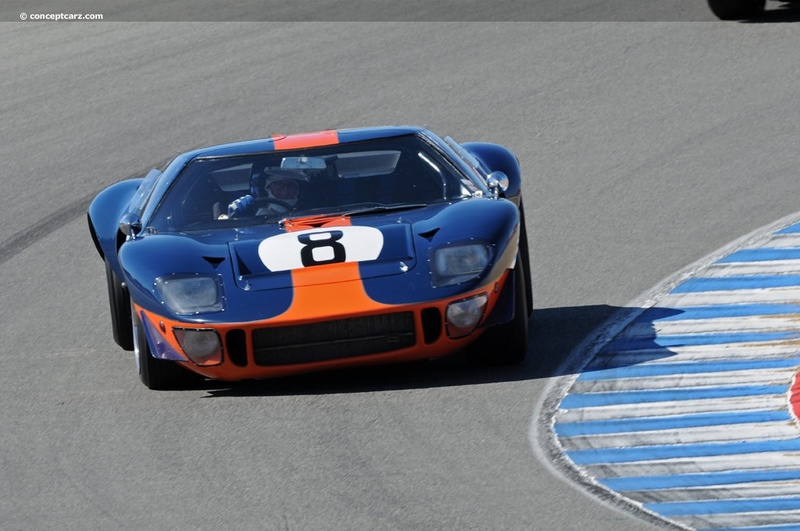 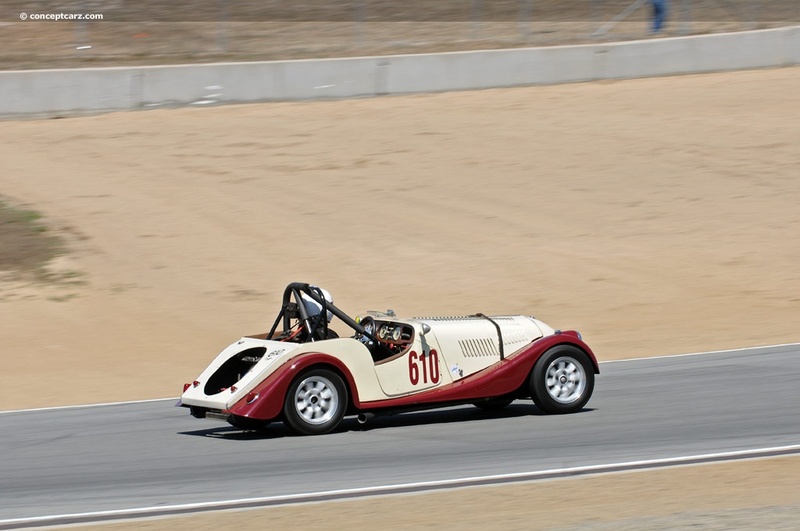 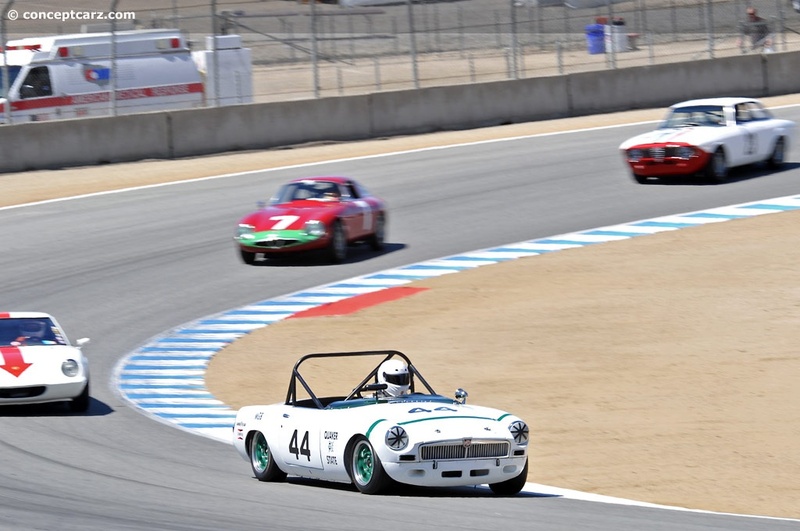 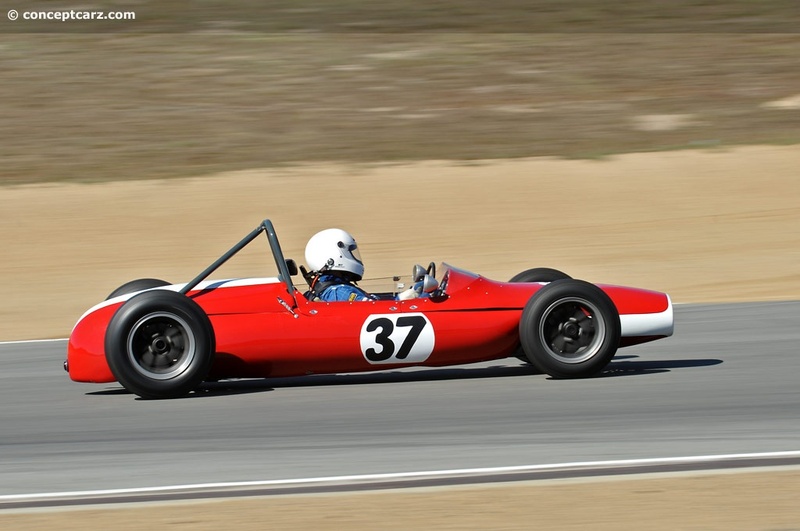 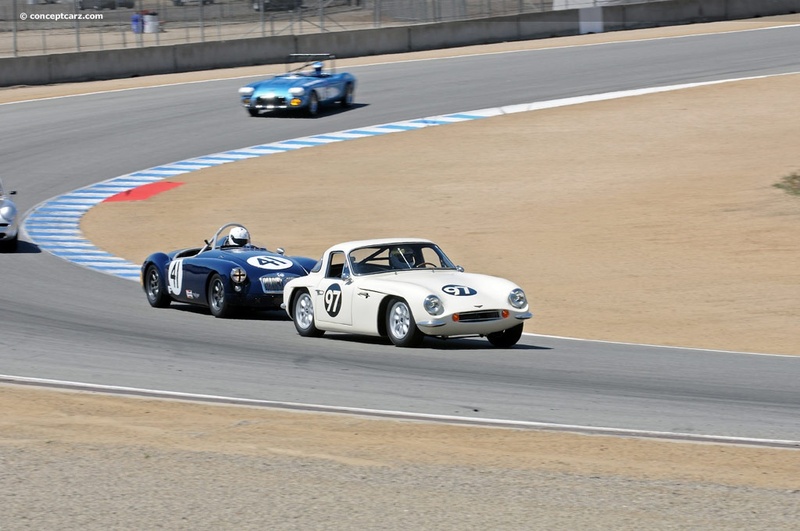 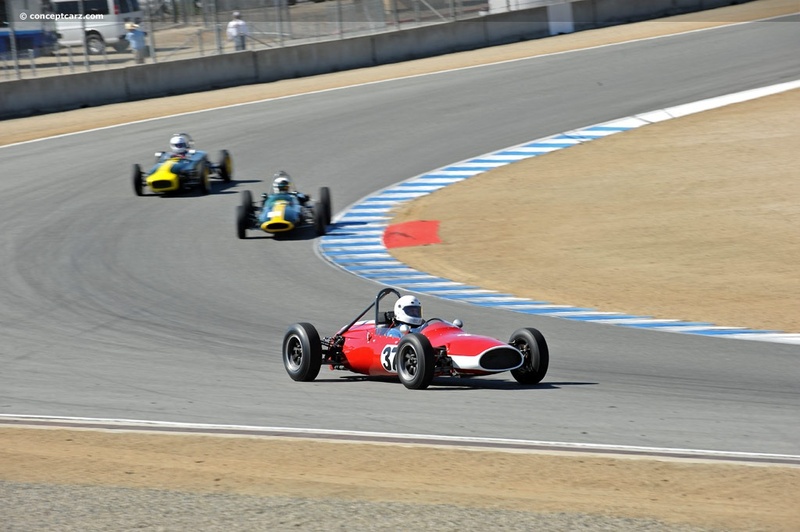 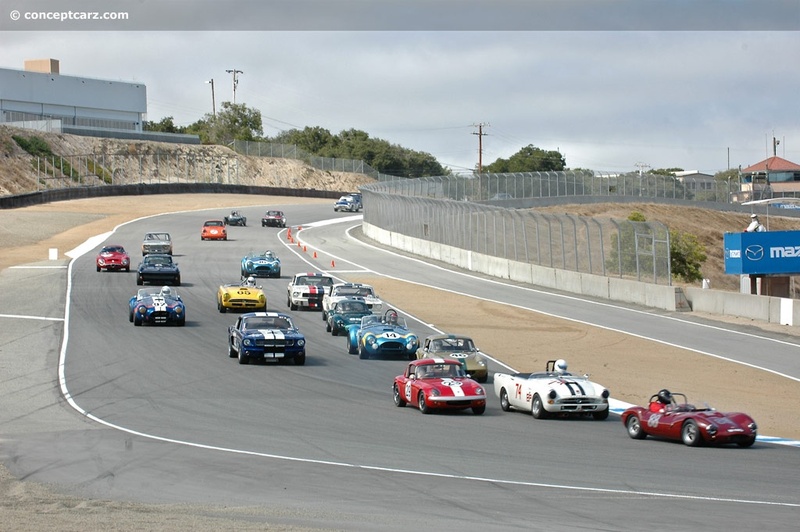 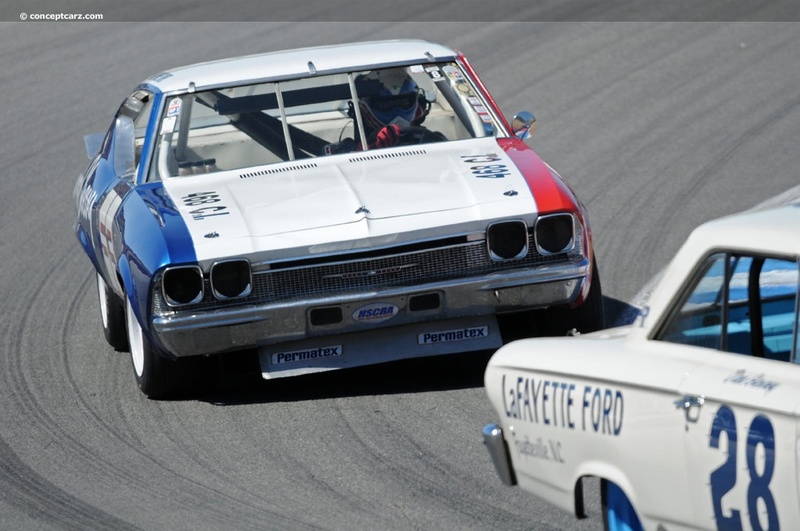 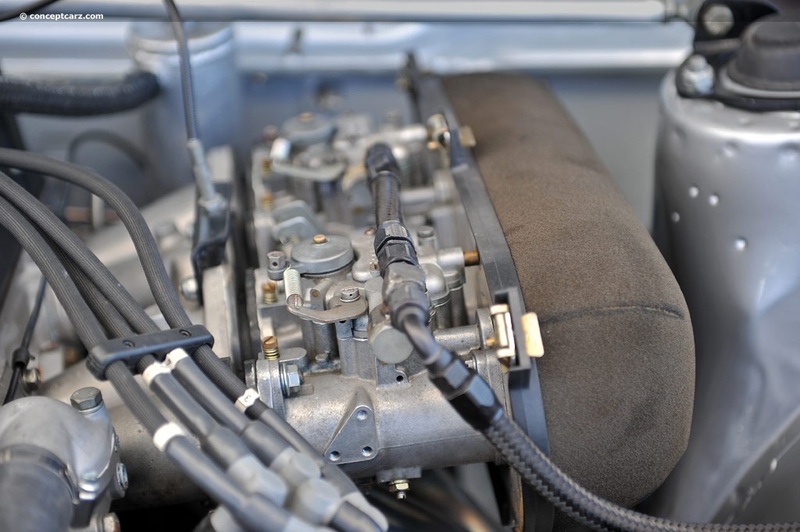 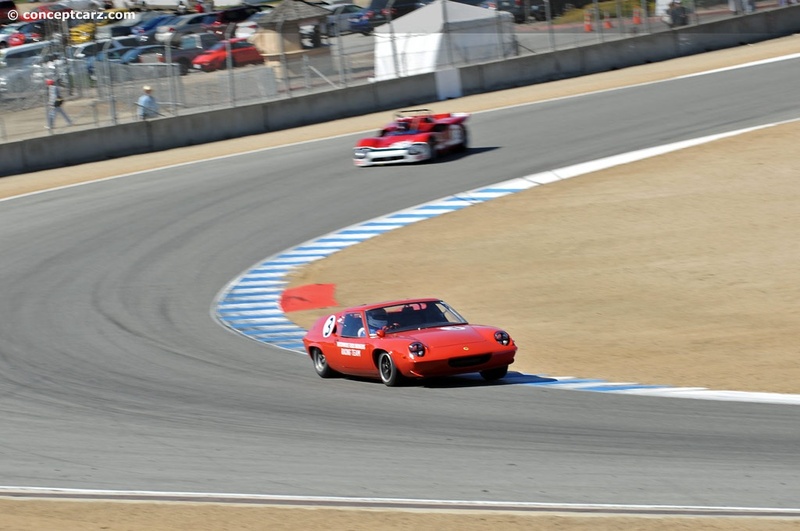 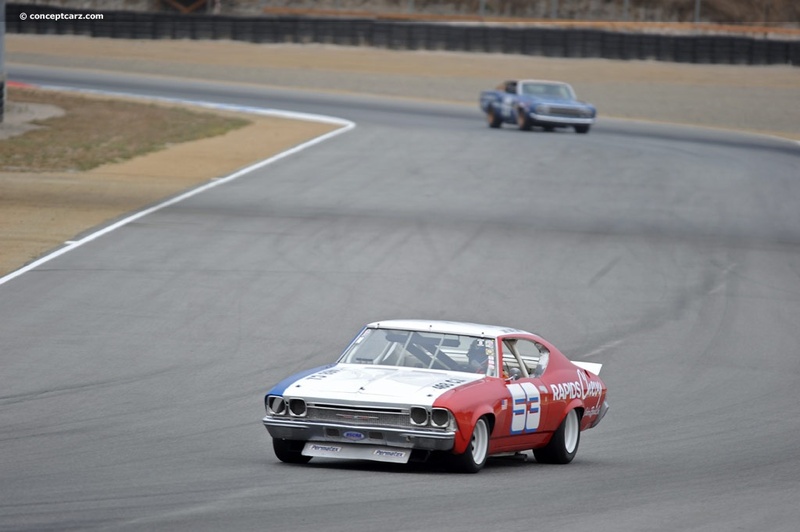 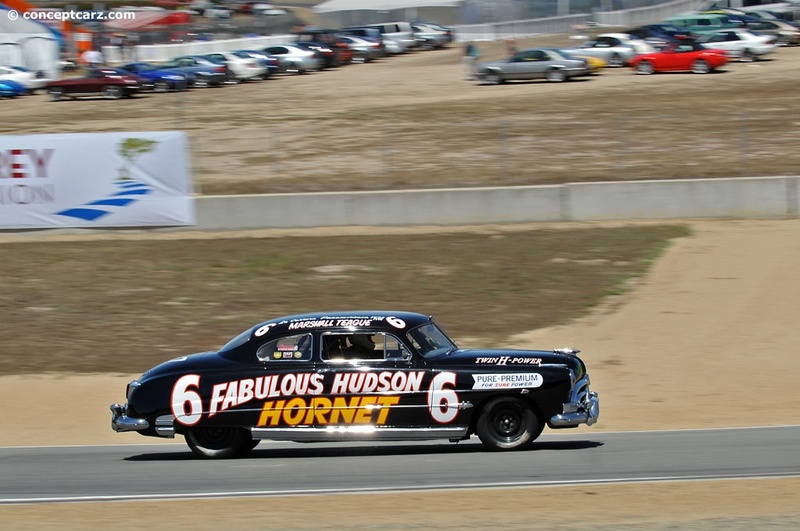 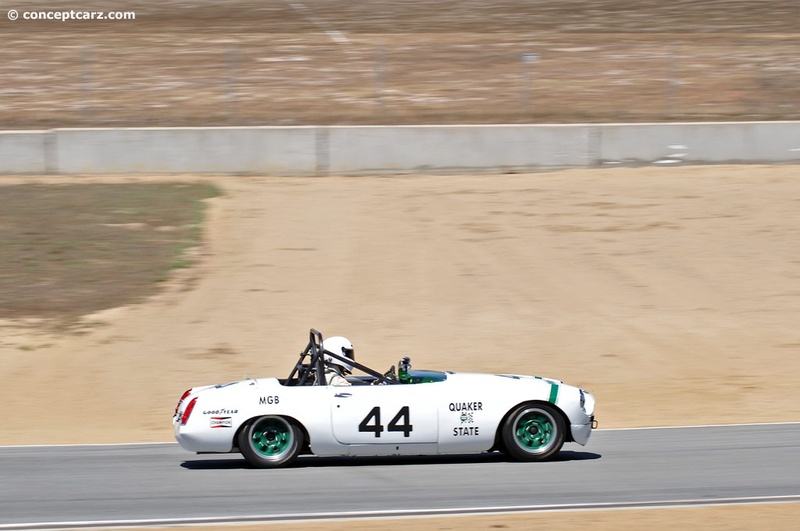 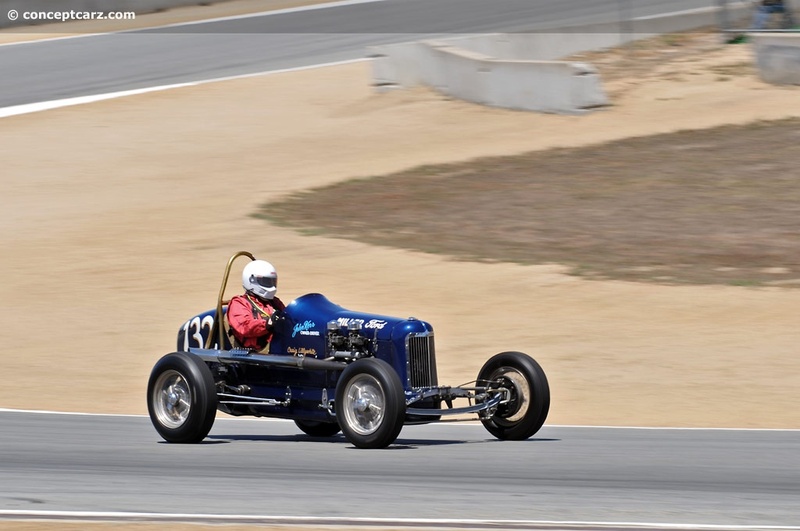 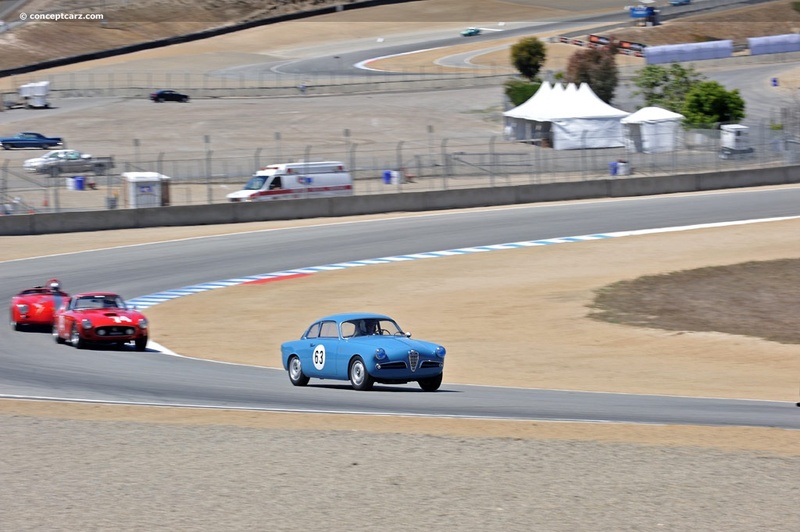 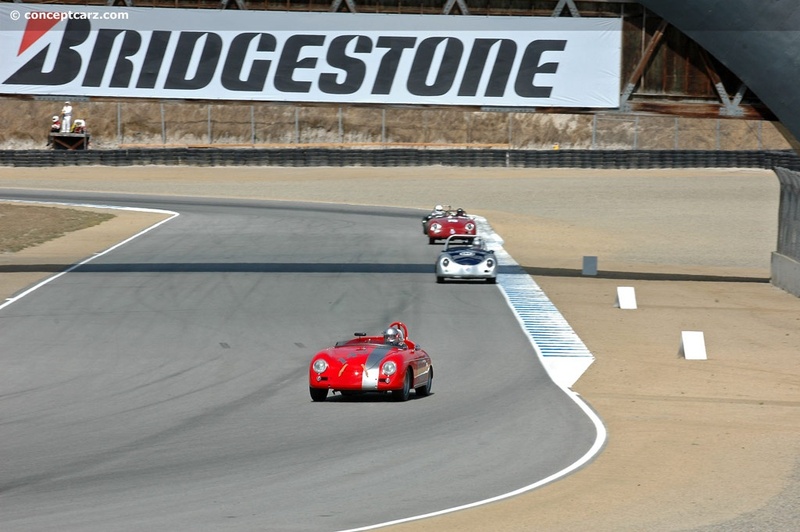 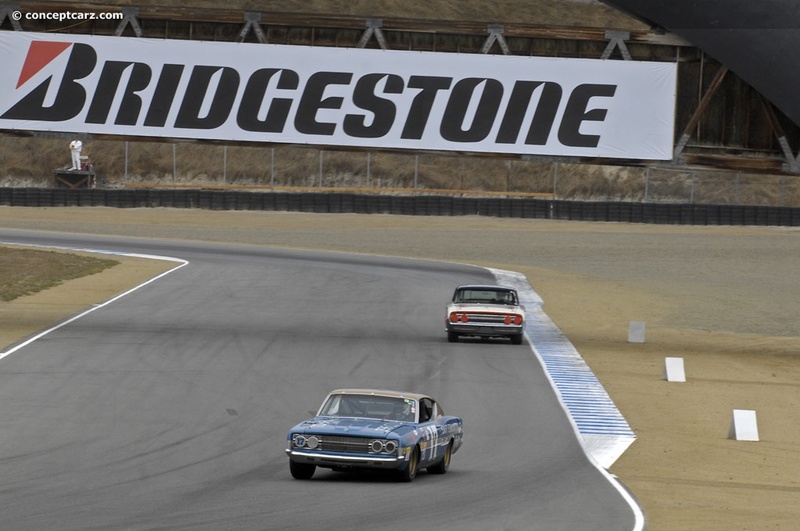 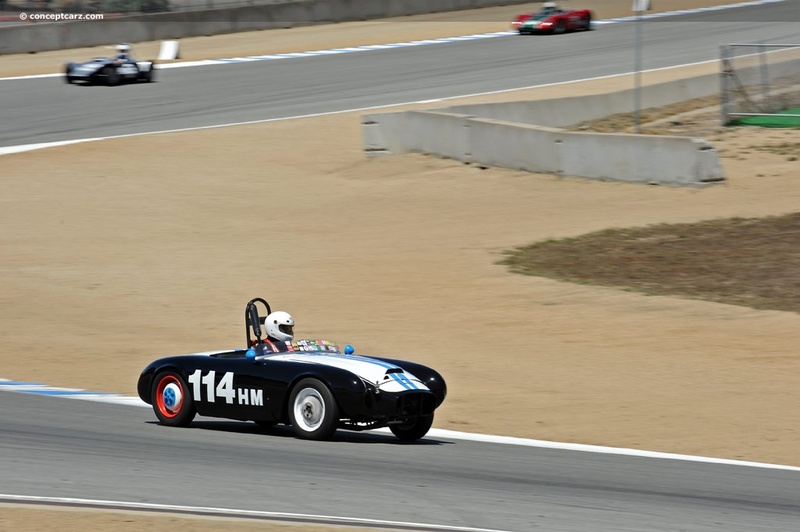 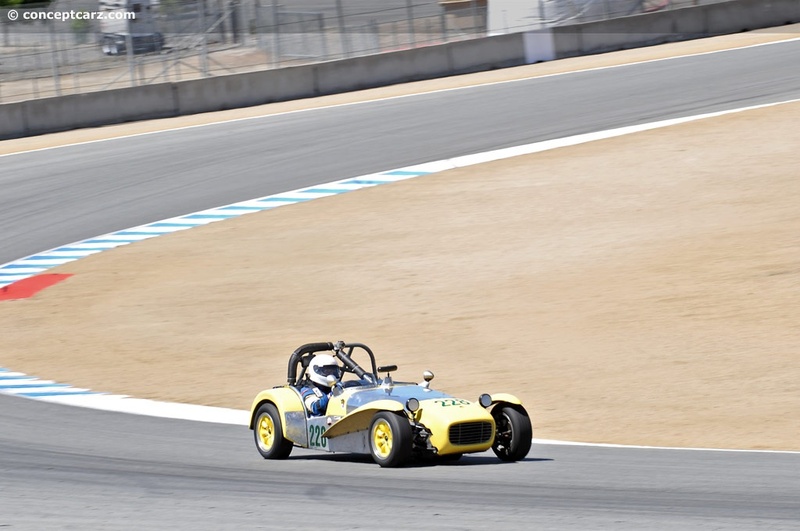 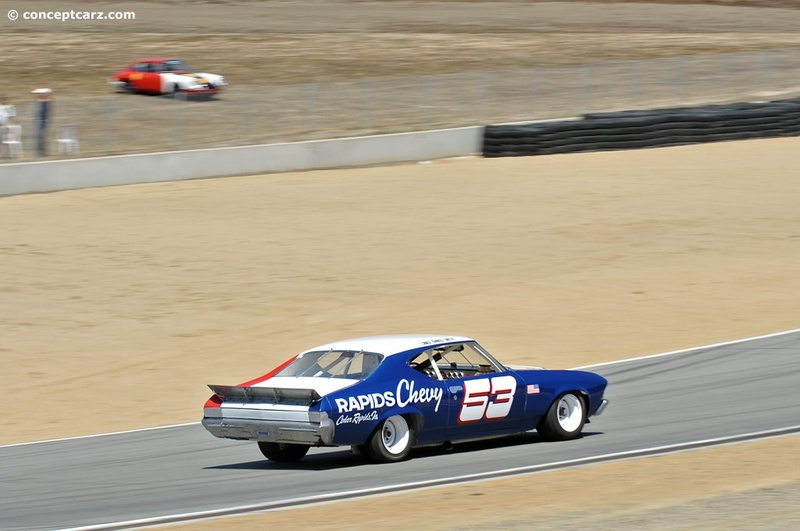 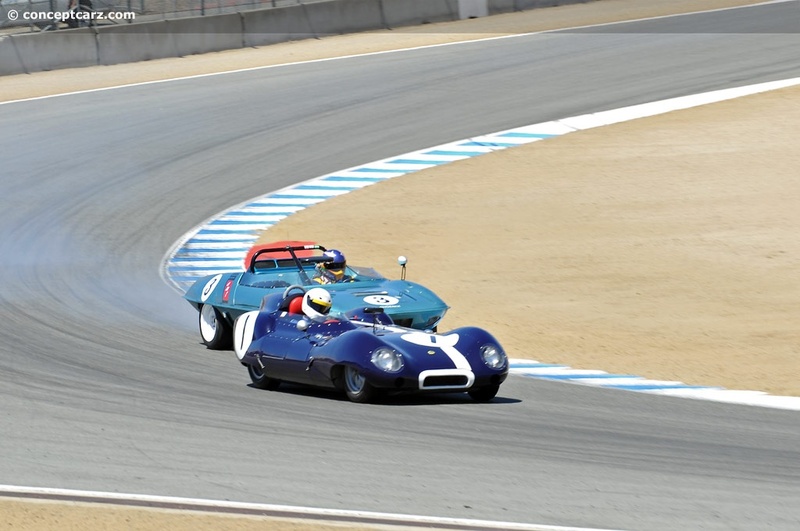 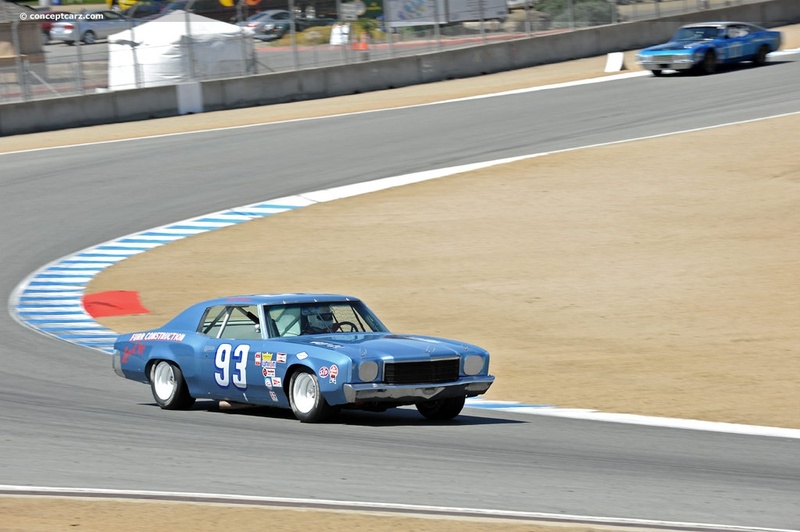 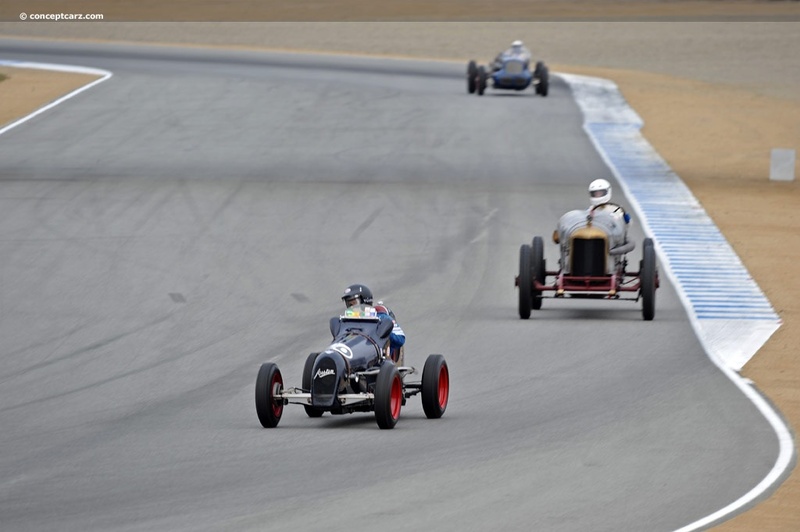 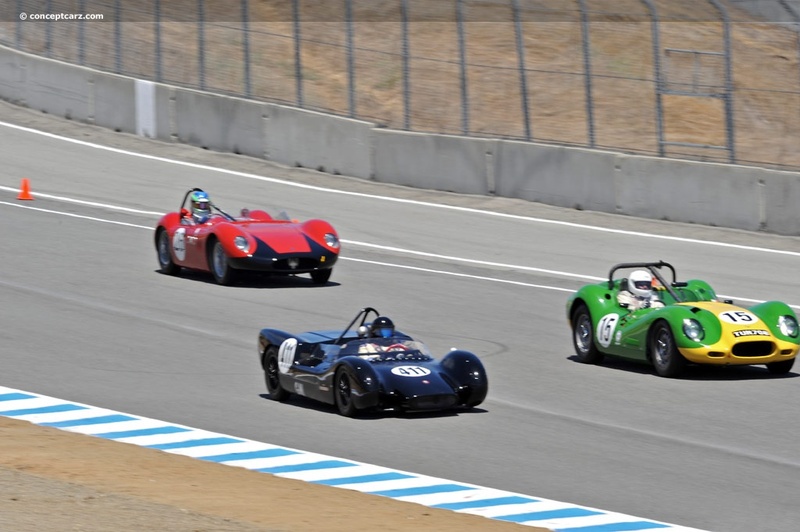 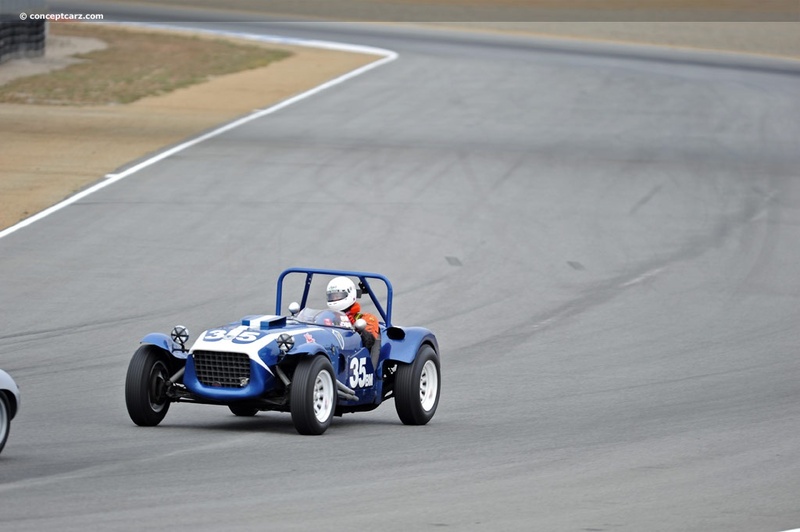 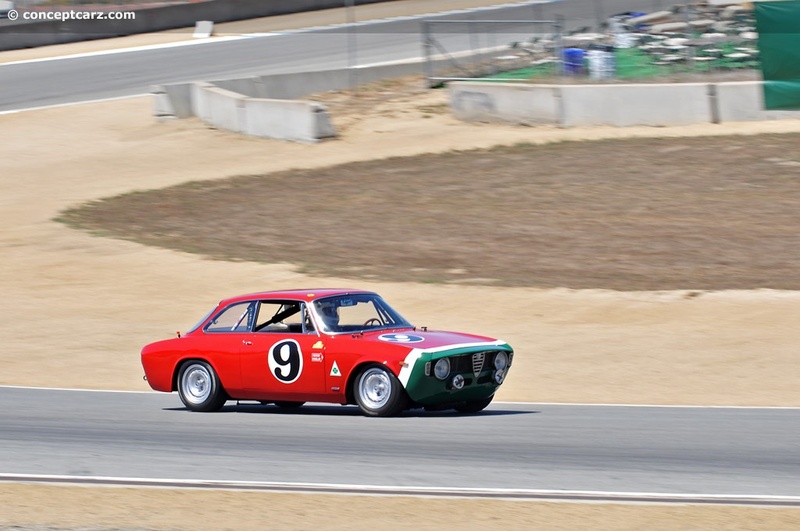 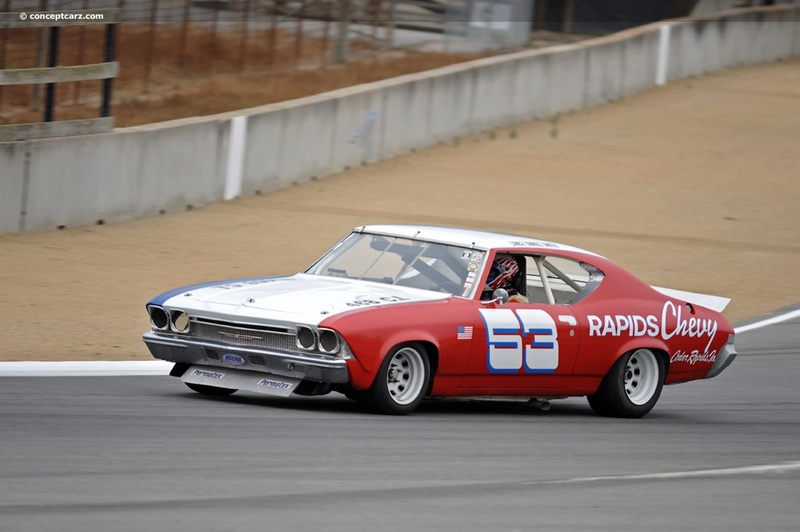 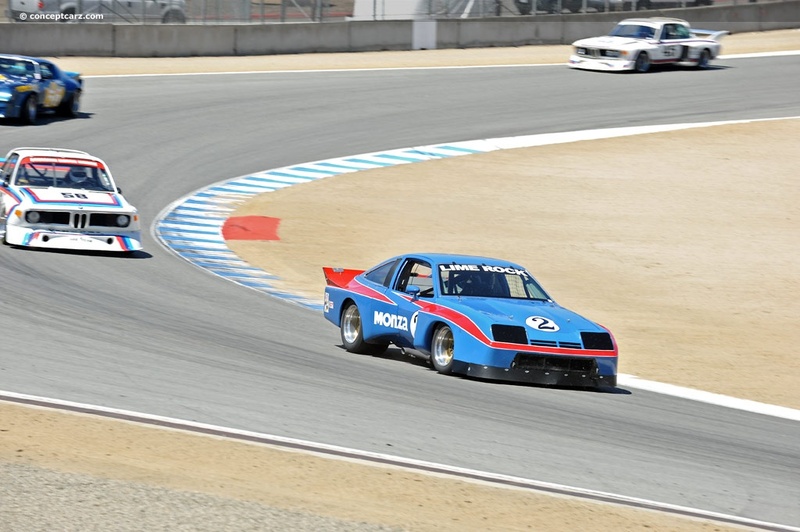 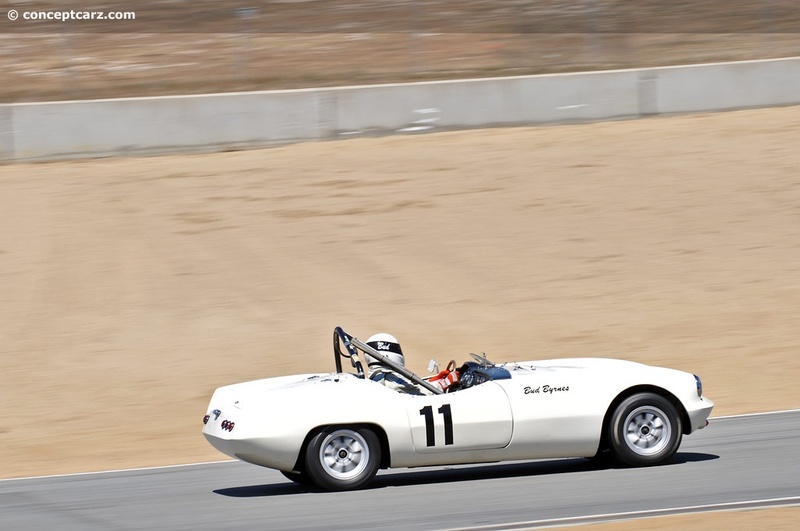 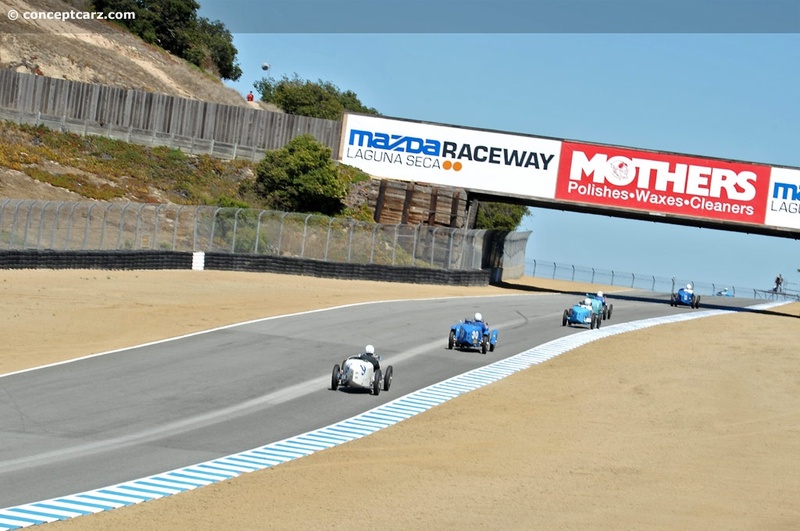 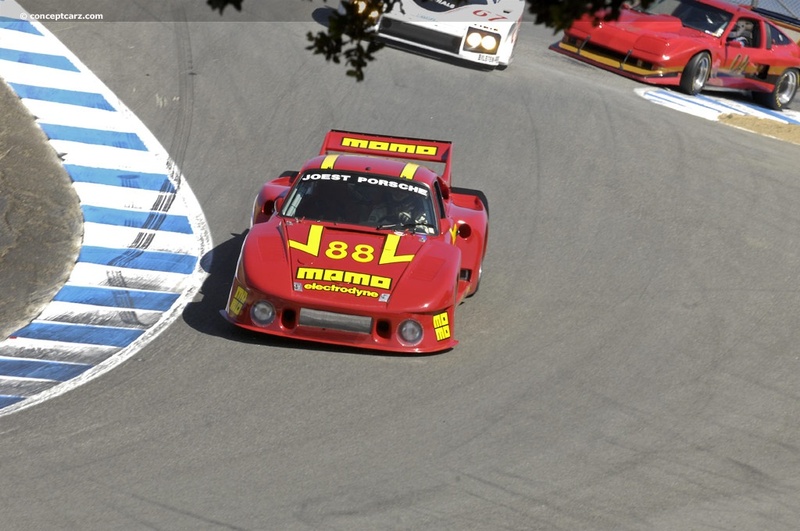 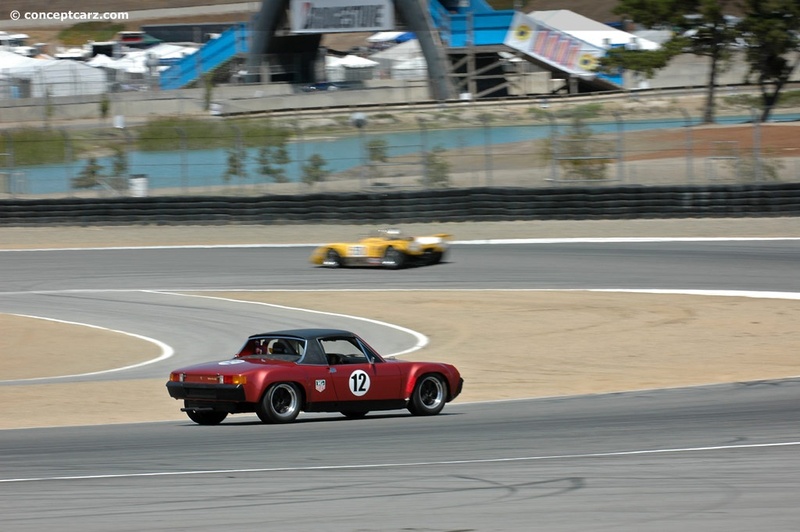 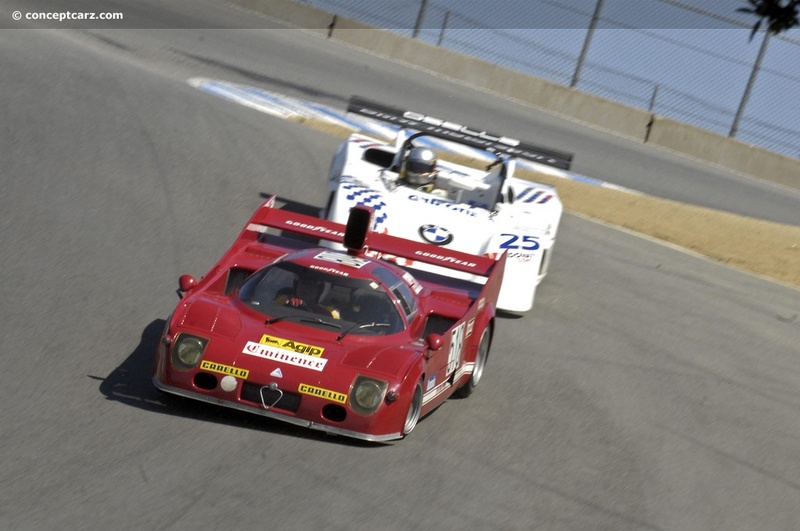 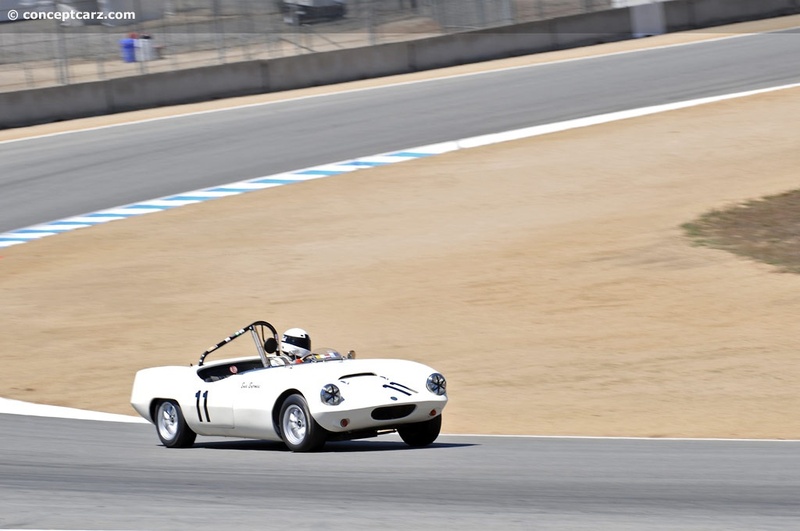 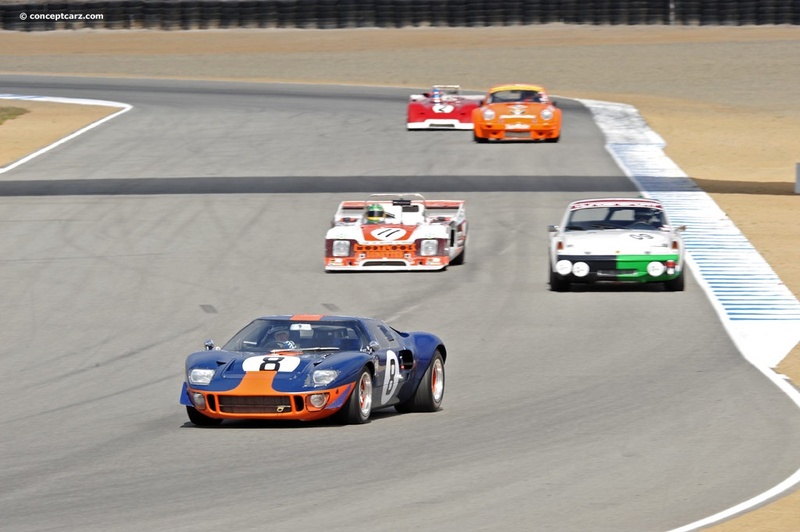 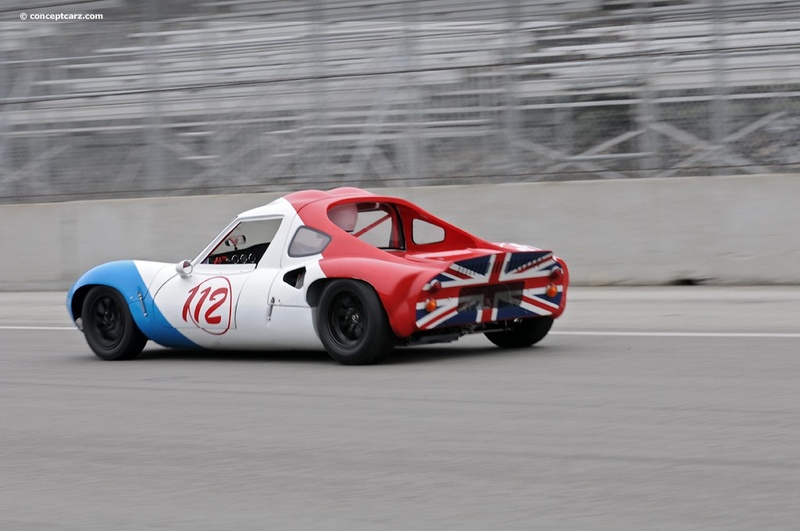 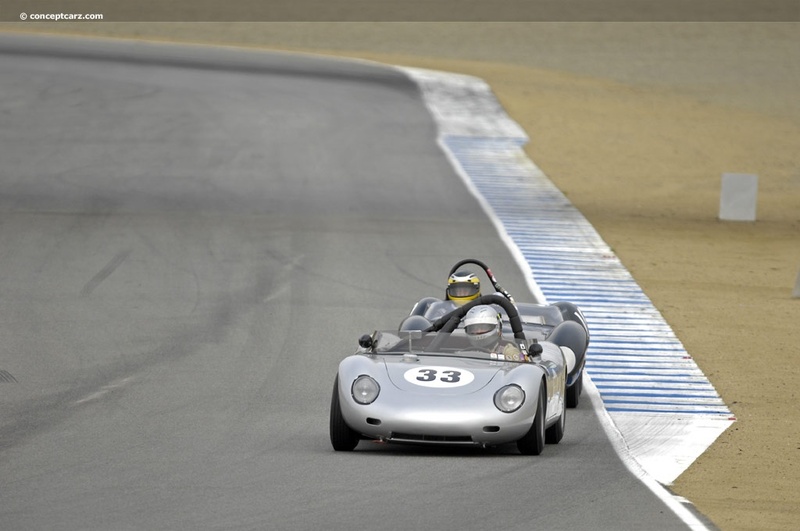 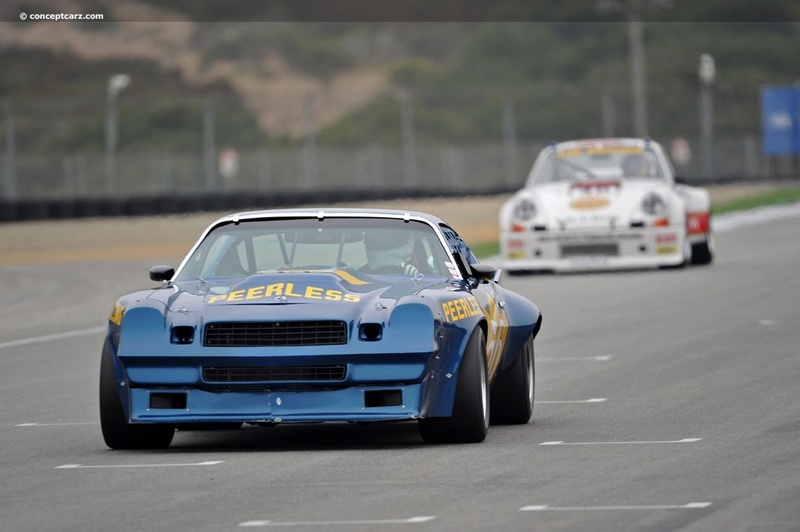 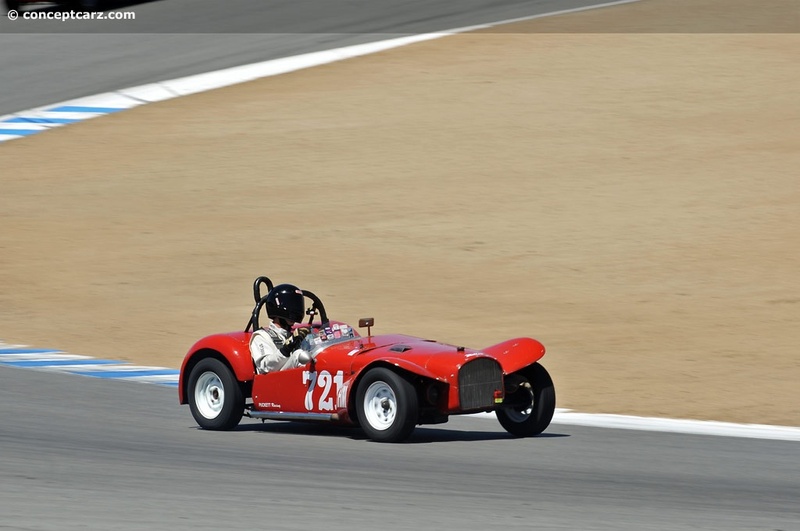 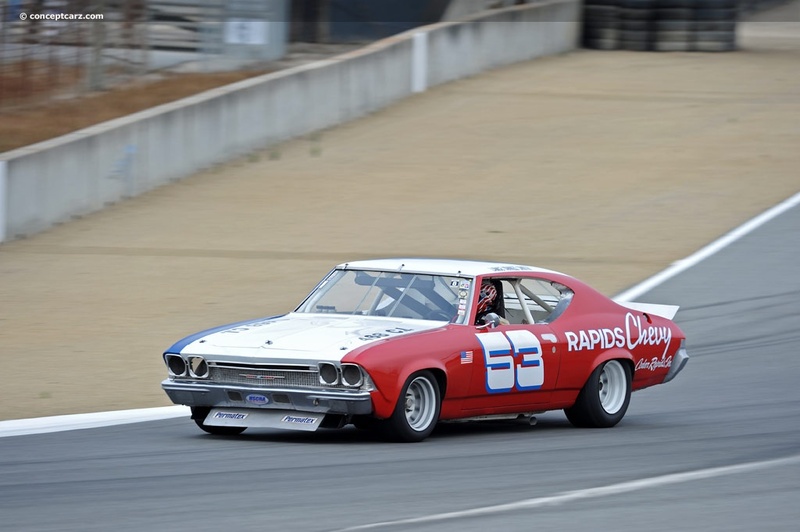 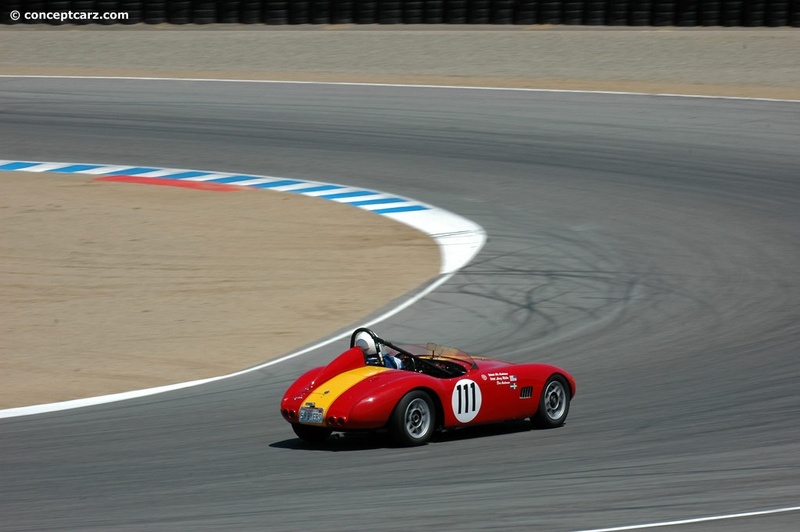 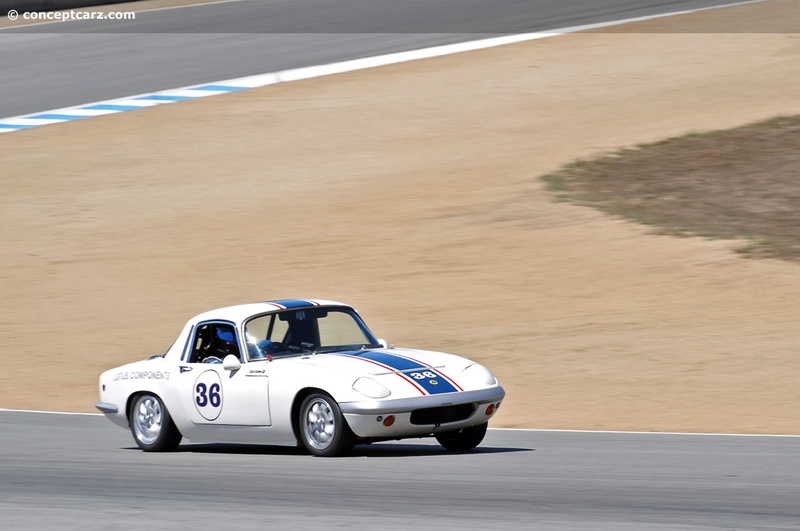 The task that Earle had performed since 1974, was handed over to Mazda Raceway Laguna Seca owner SCRAMP (Sports Car Racing Association of the Monterey Peninsula). 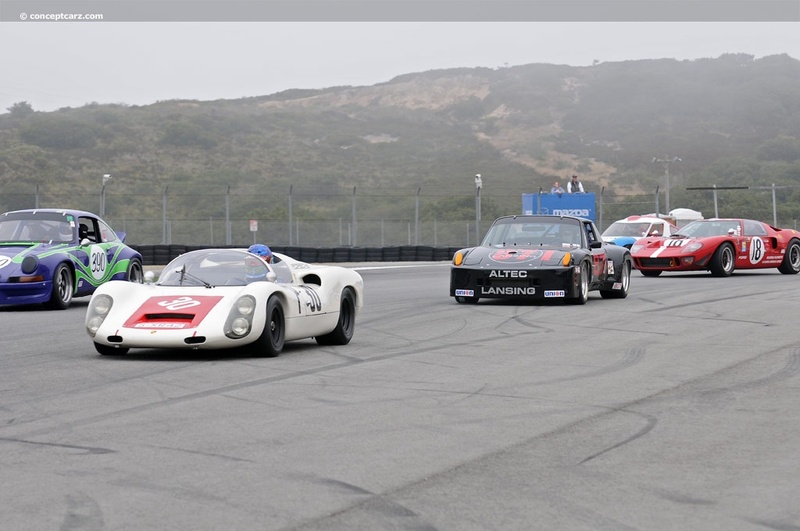 Though the event was as smooth and well organized as it had been in prior years, there were changes. 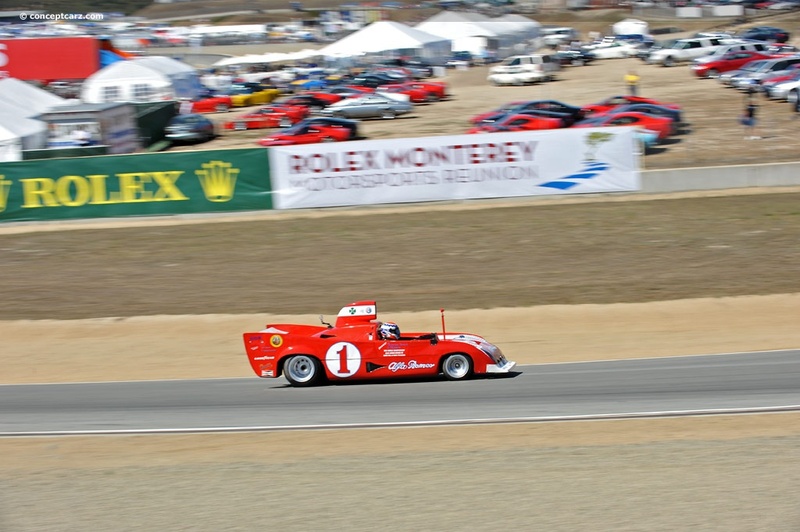 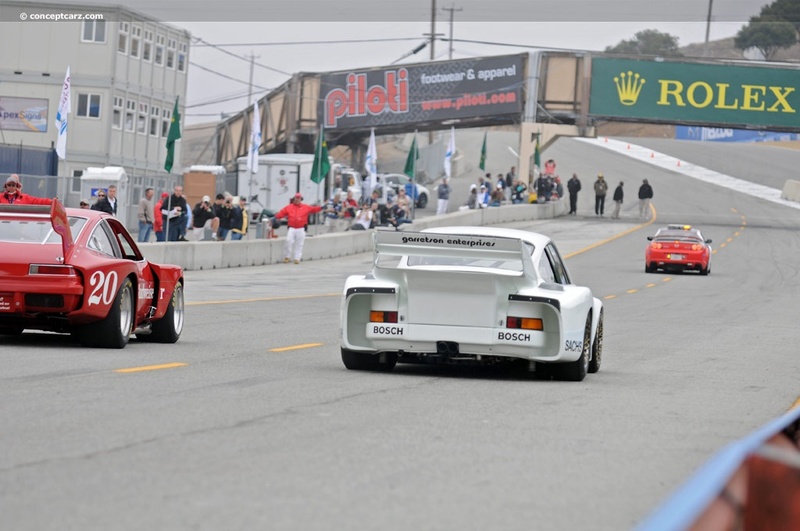 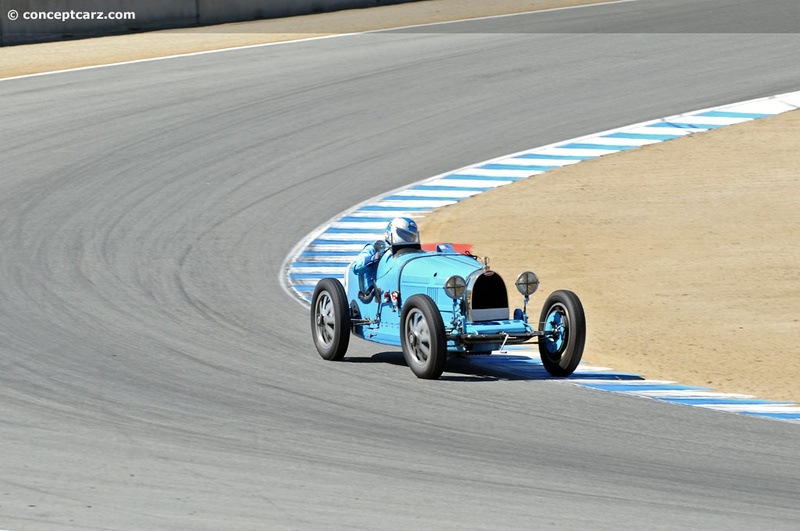 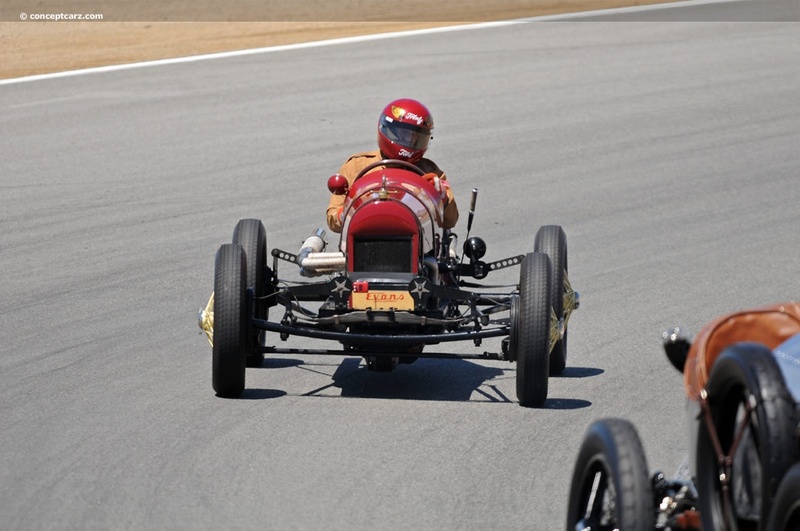 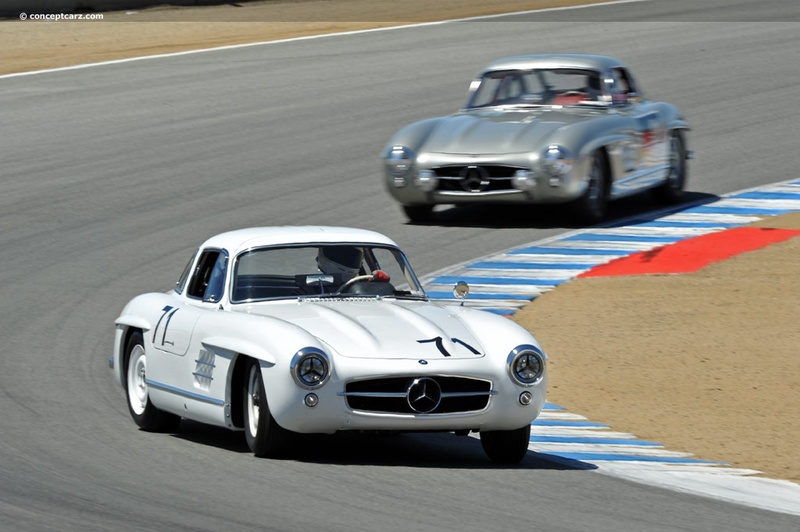 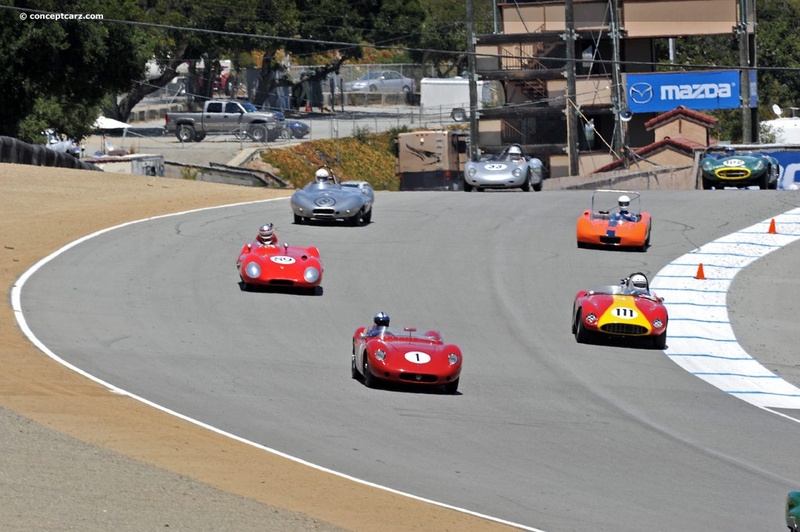 The most noticeable was the new name: the 'Rolex Monterey Motorsports Reunion.' 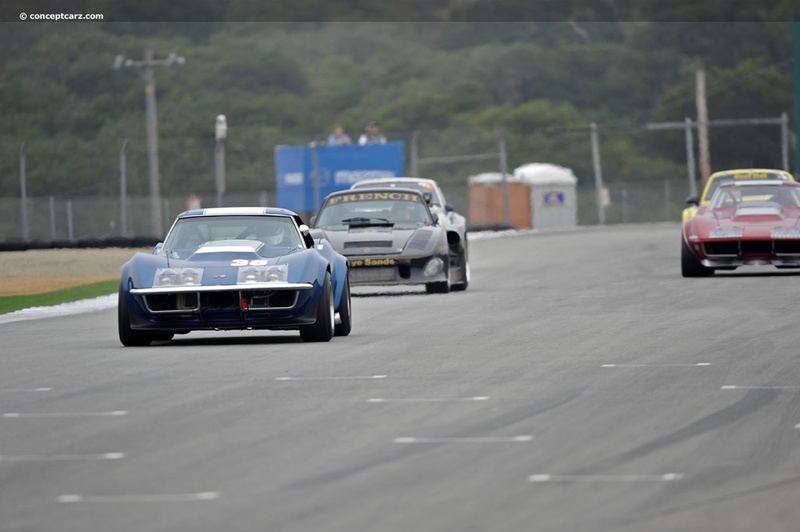 Another day of racing was added to the agenda to accommodate the record number of entrants and 19 racing groups. 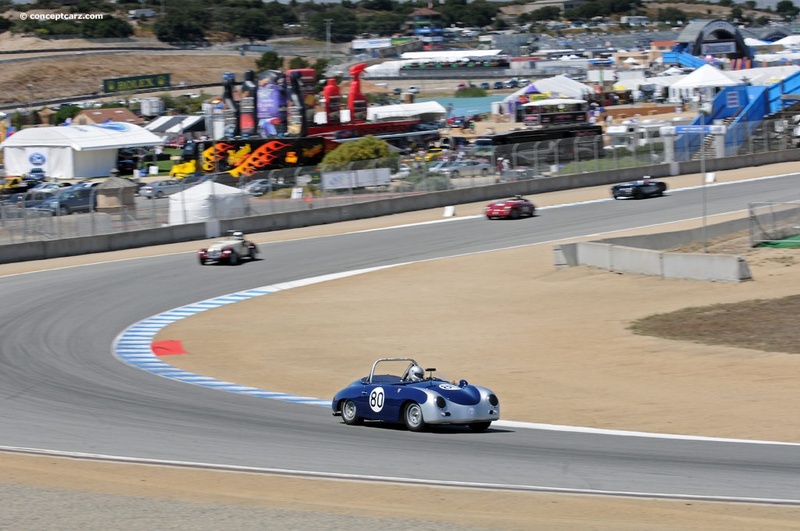 Thursday and Friday were practice and qualifying sessions, with races held on Saturday and Sunday. 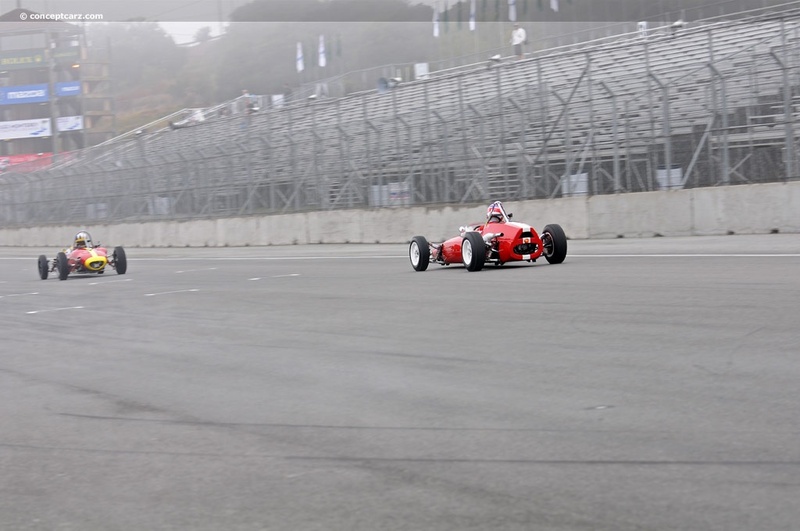 Another change was the race-day morning sessions, which were switched from warm-ups session to qualifying races. 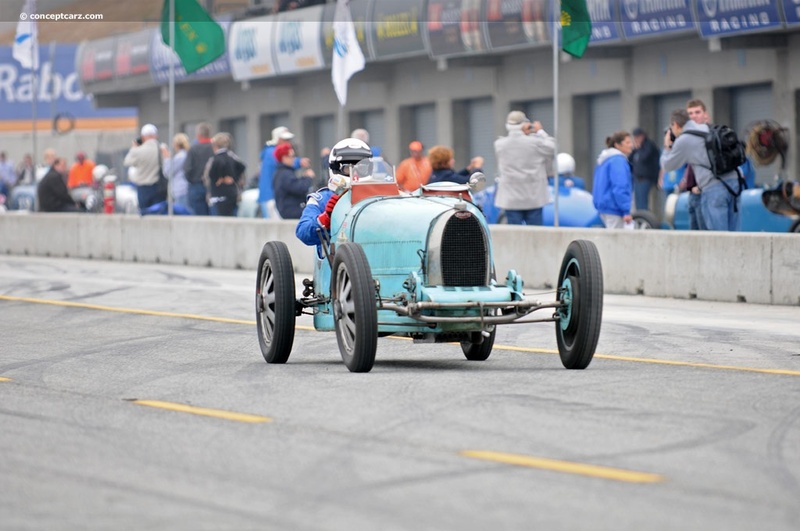 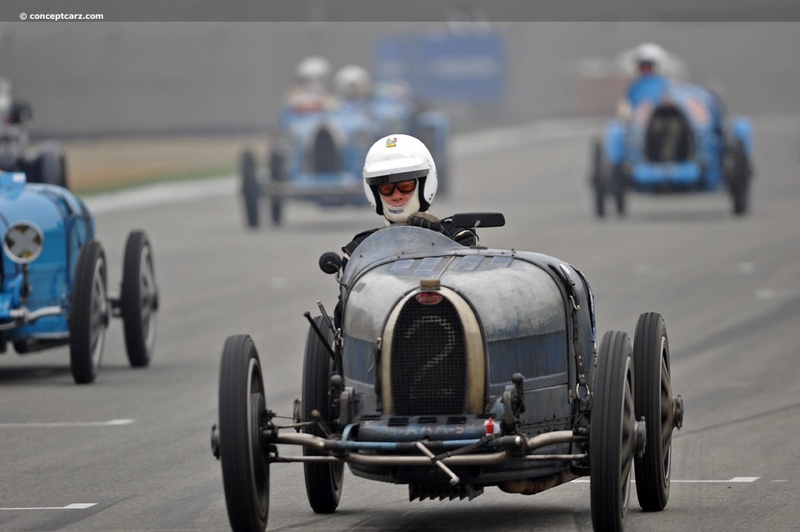 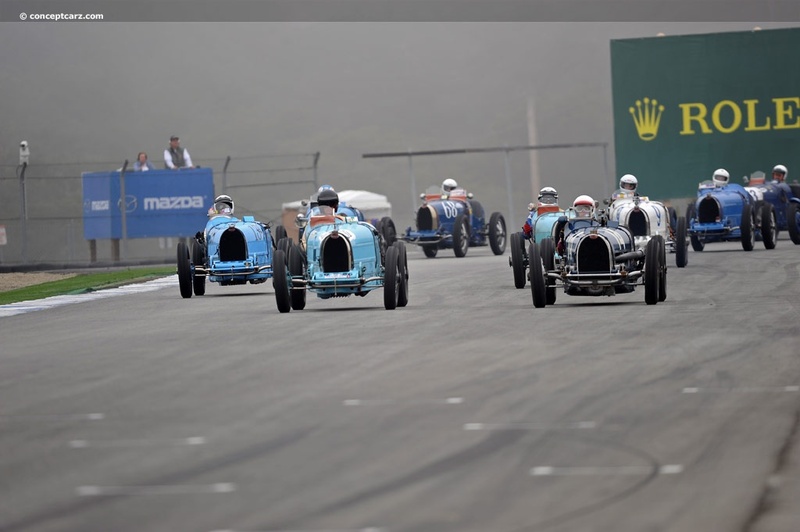 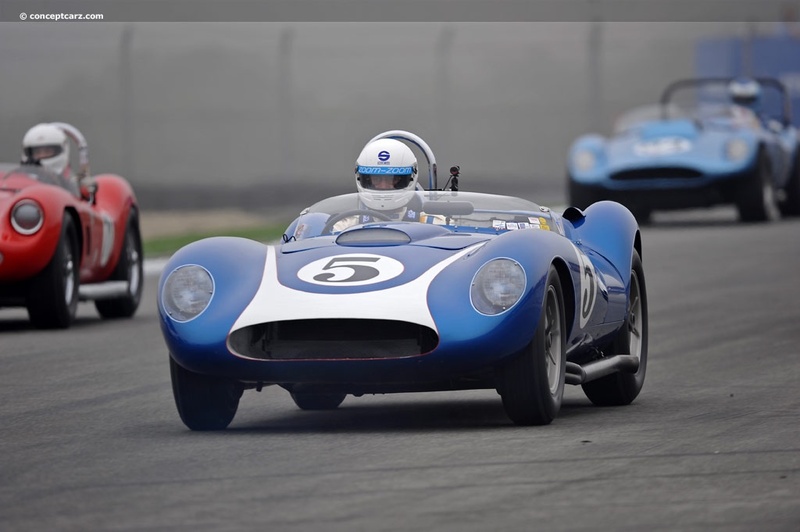 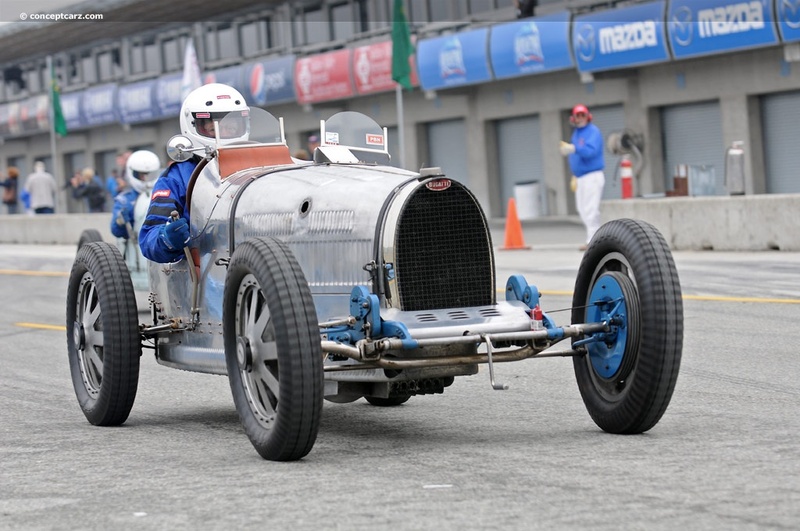 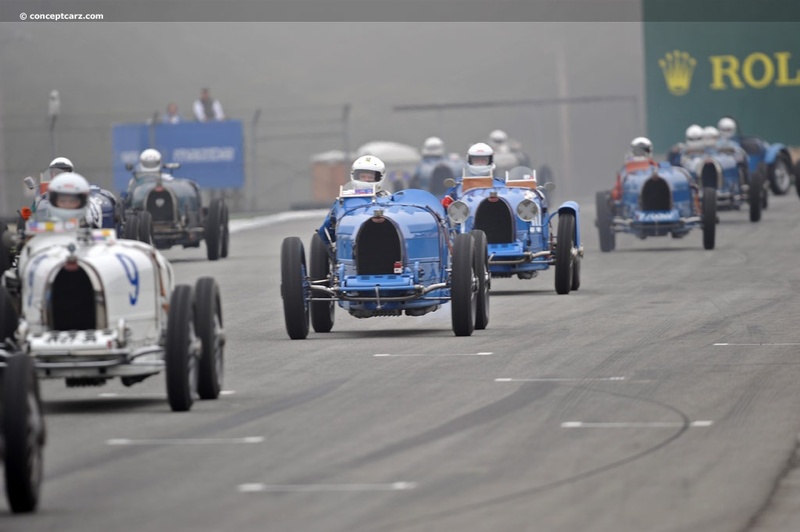 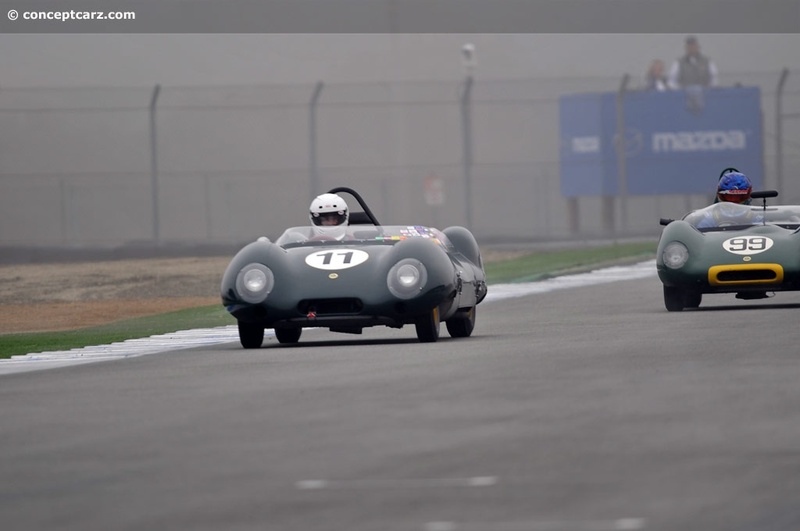 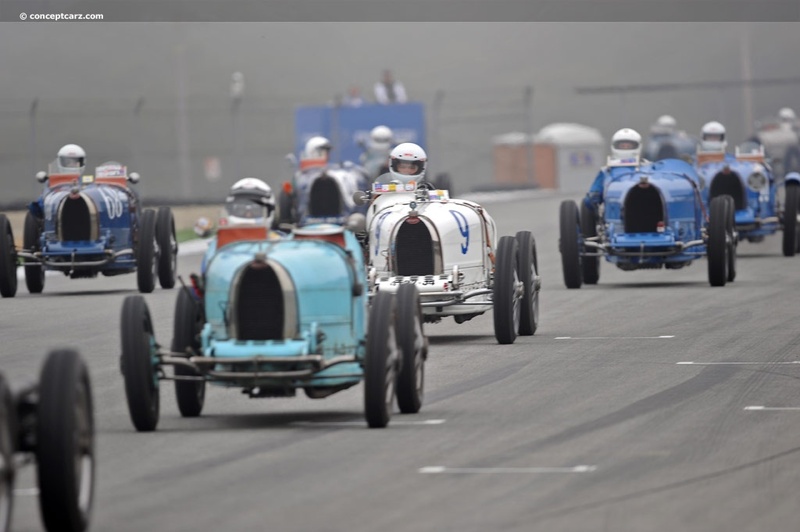 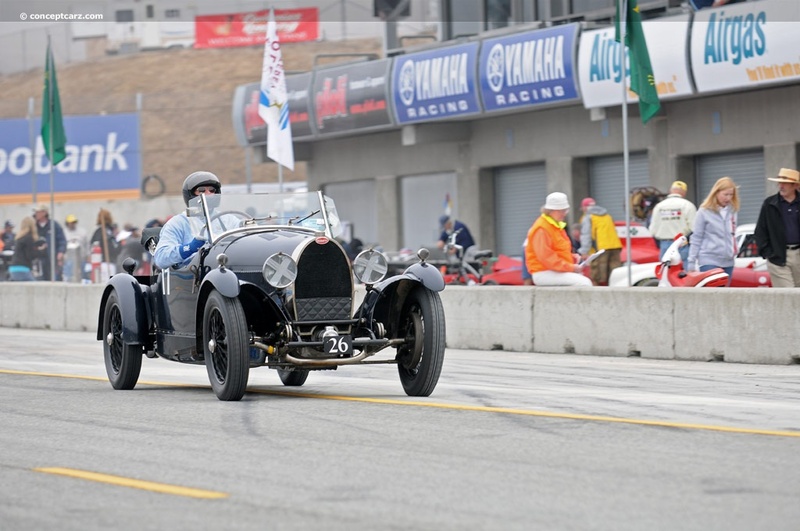 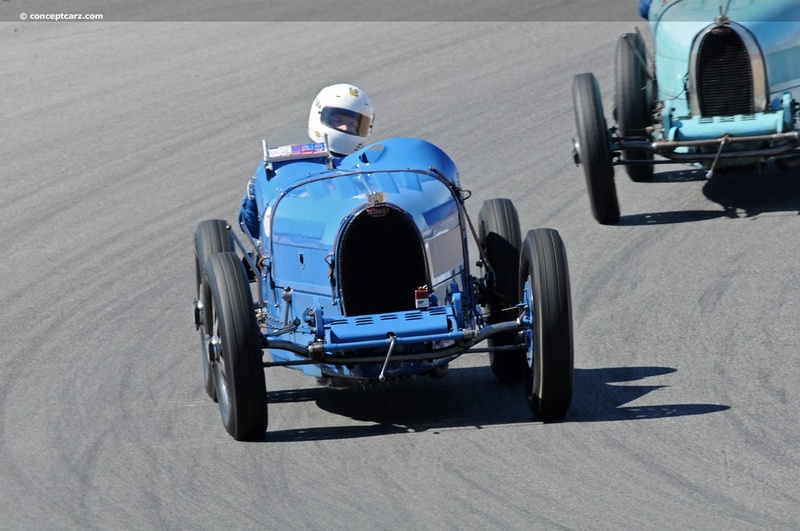 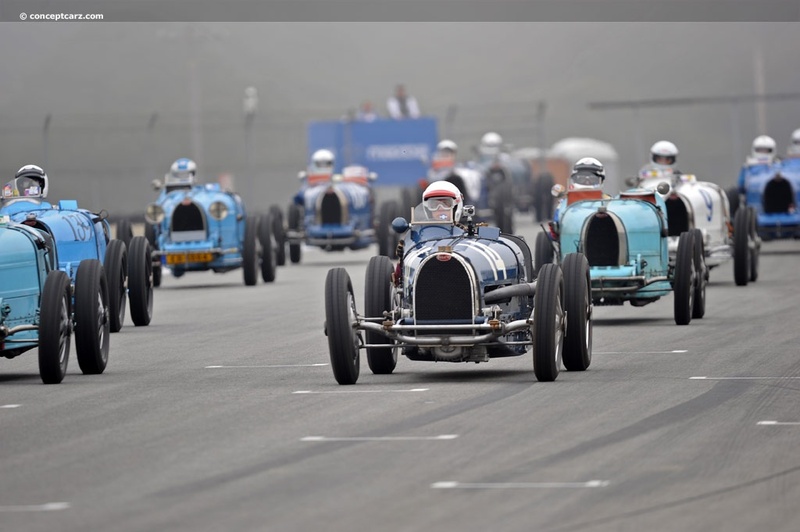 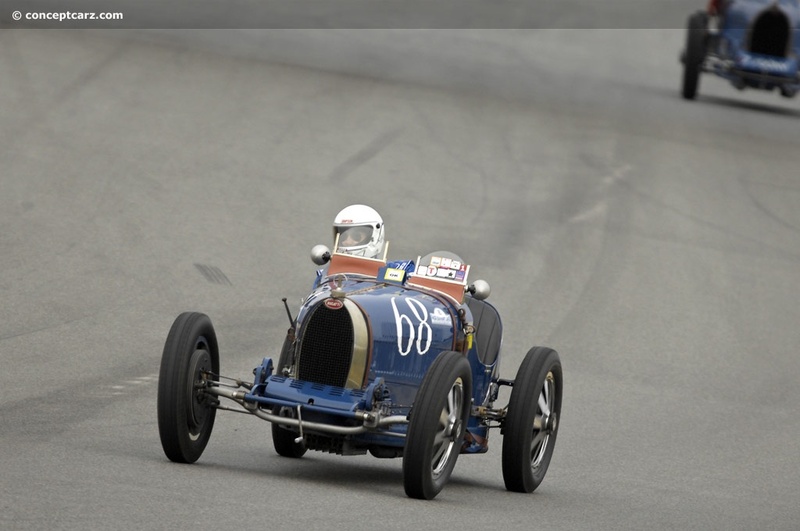 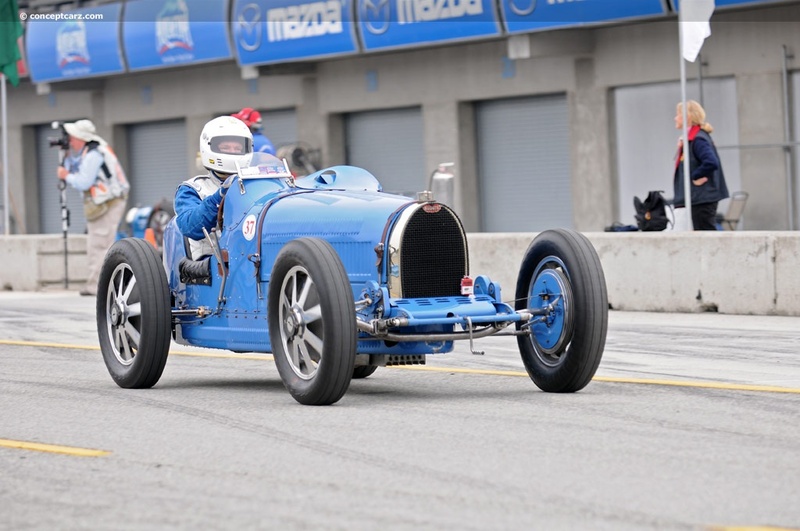 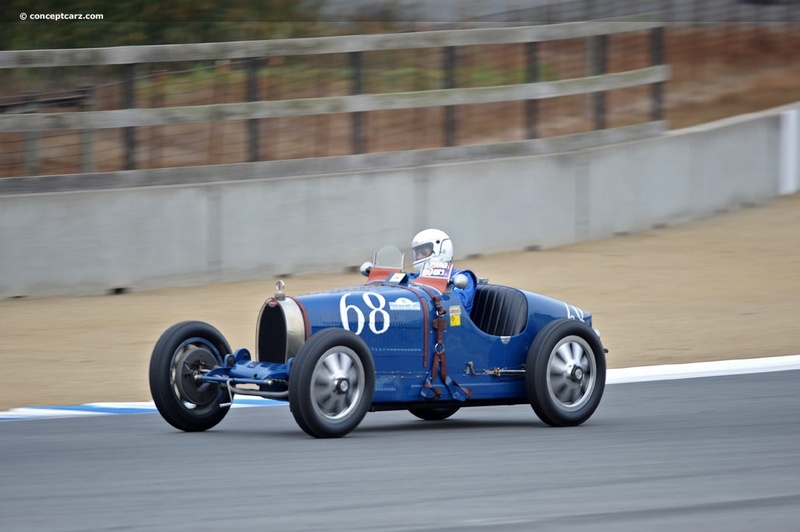 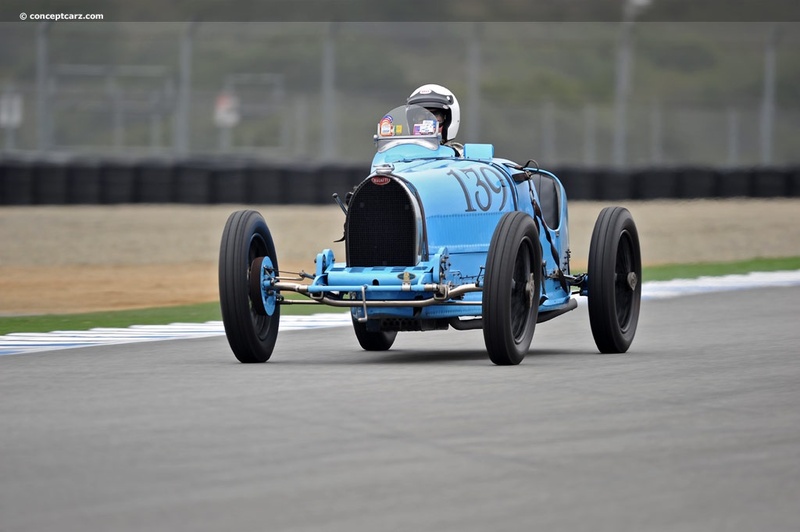 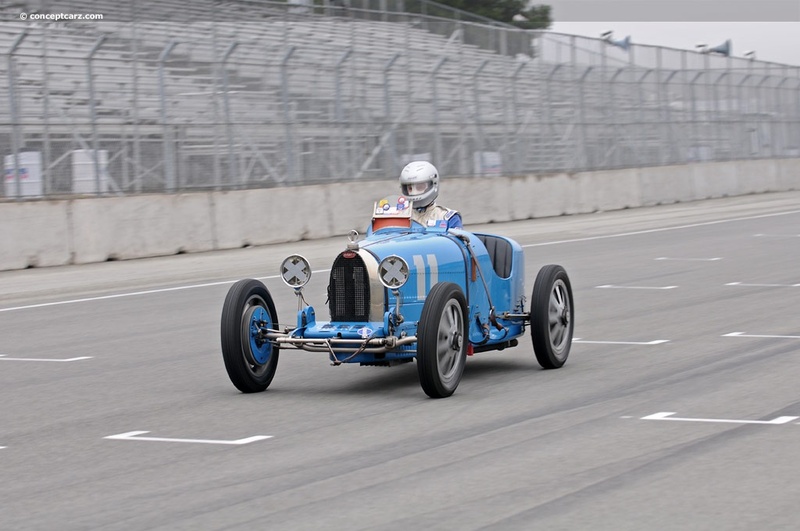 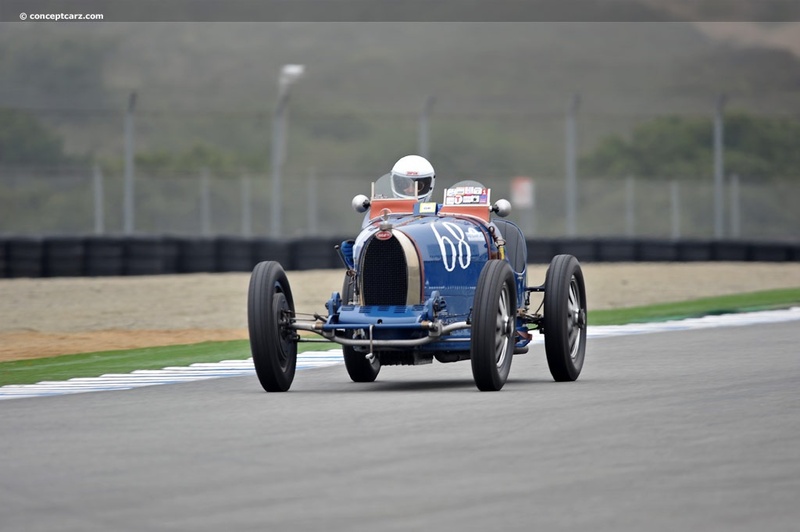 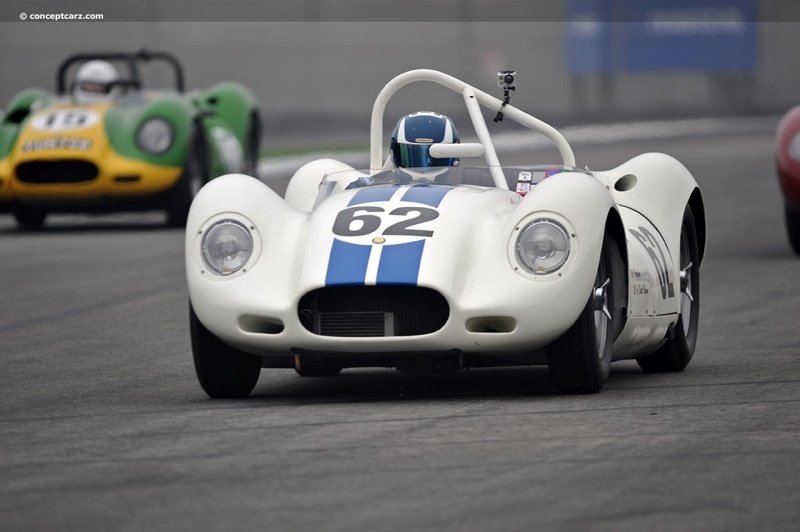 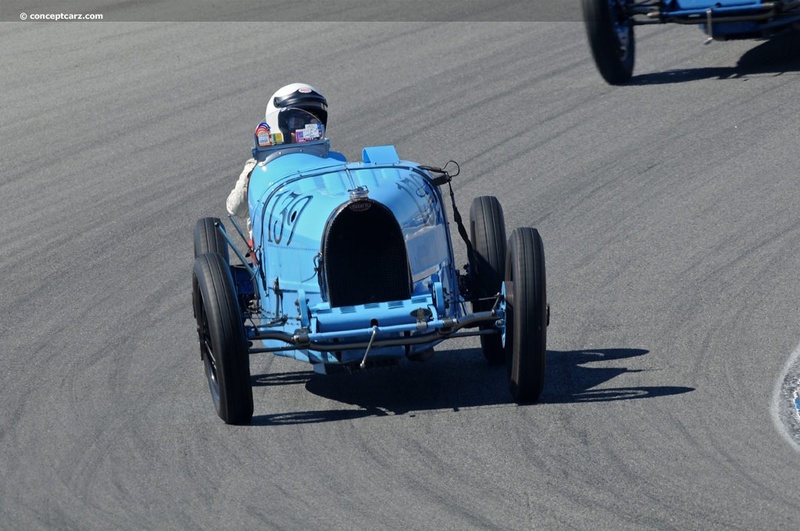 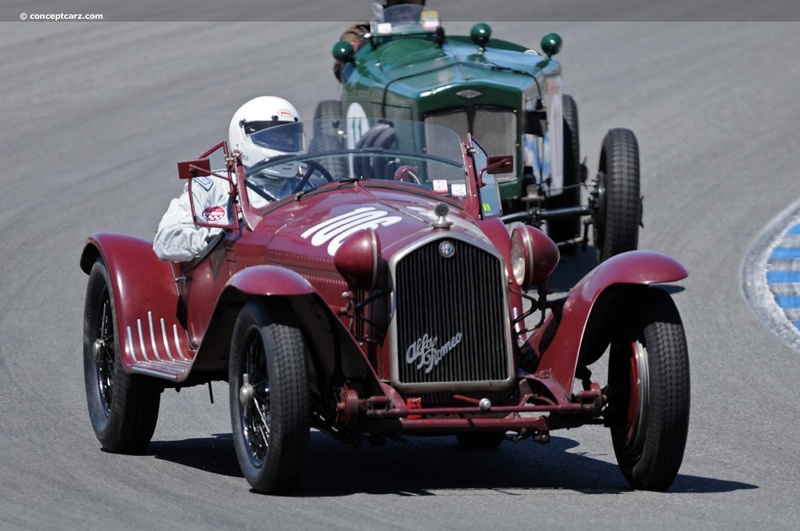 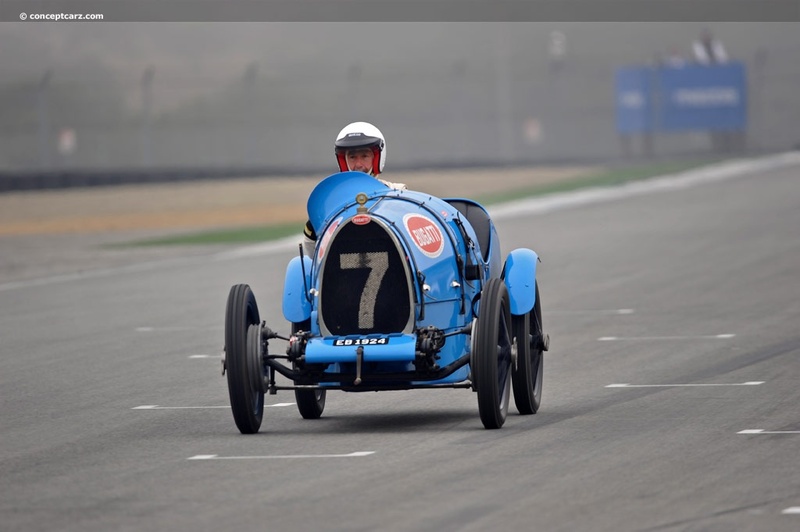 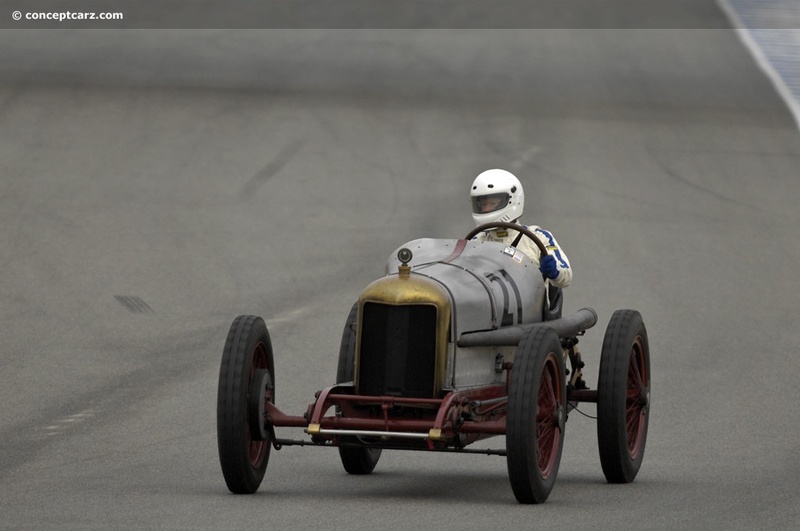 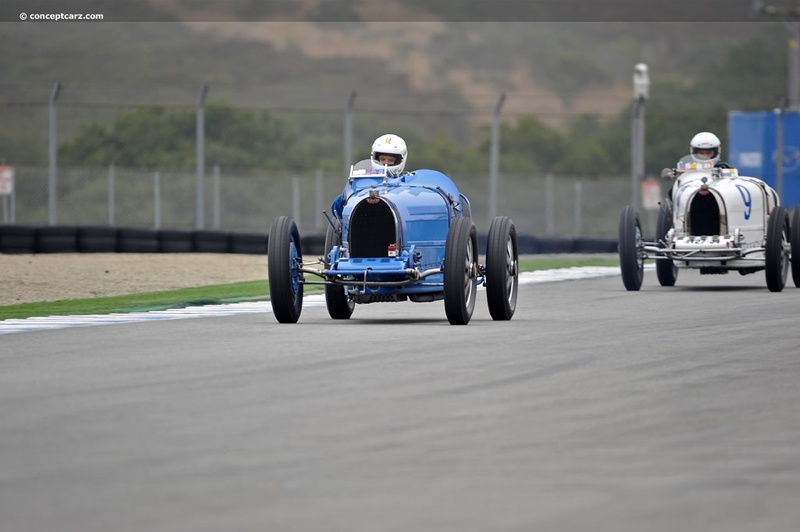 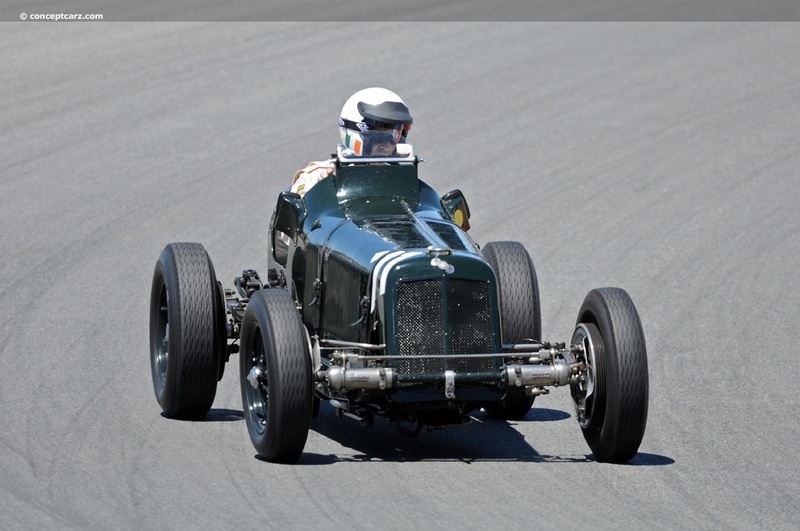 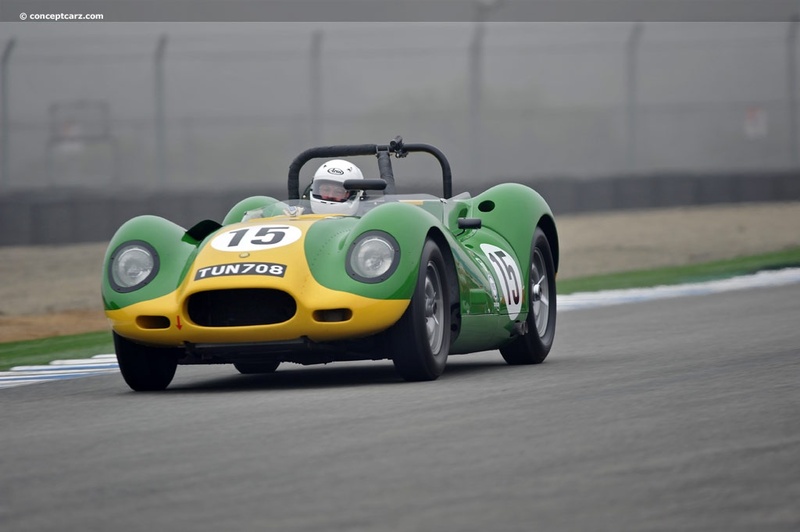 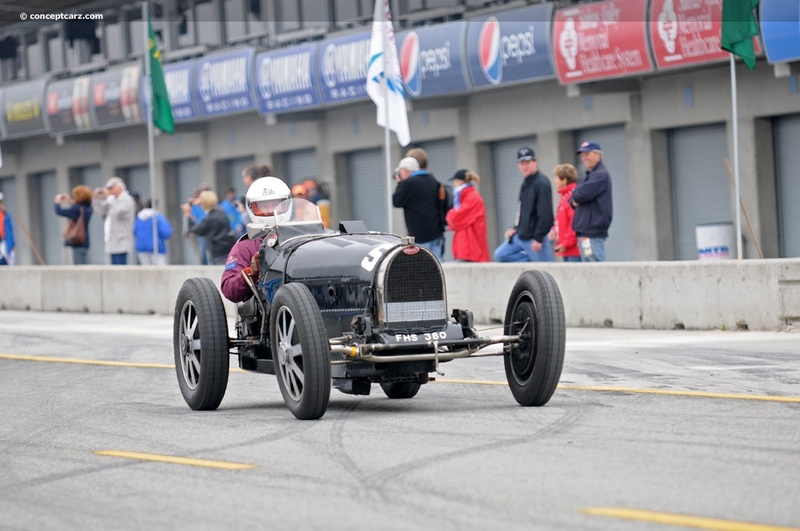 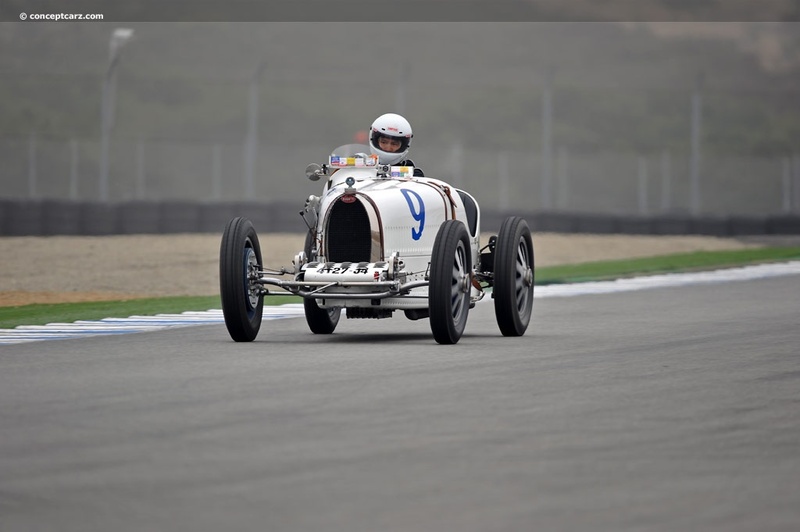 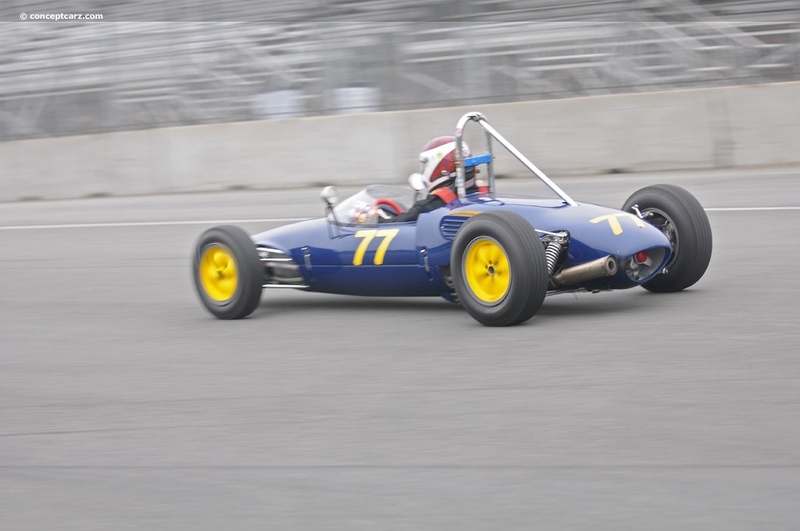 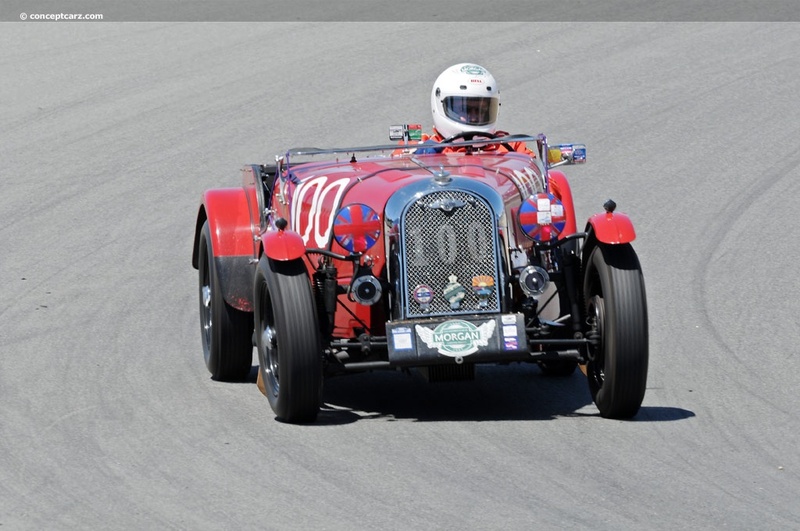 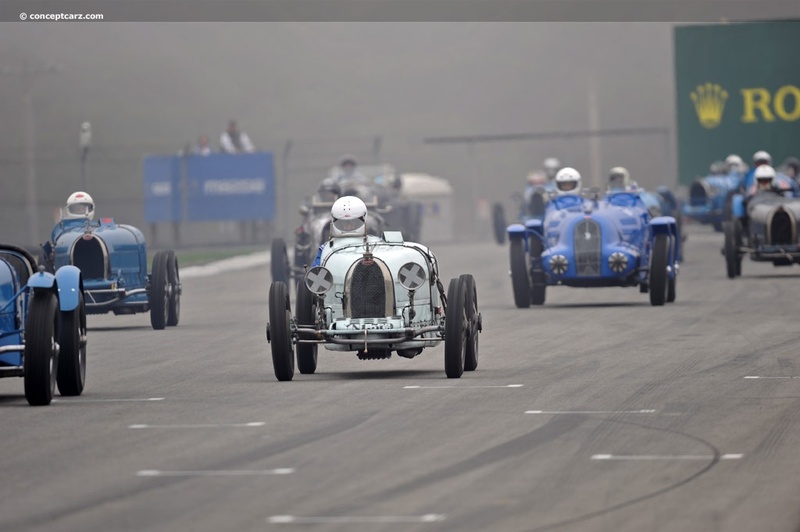 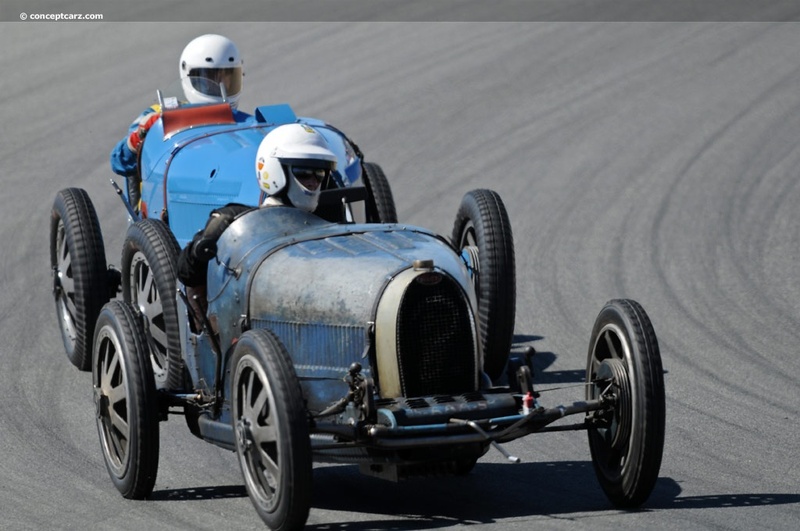 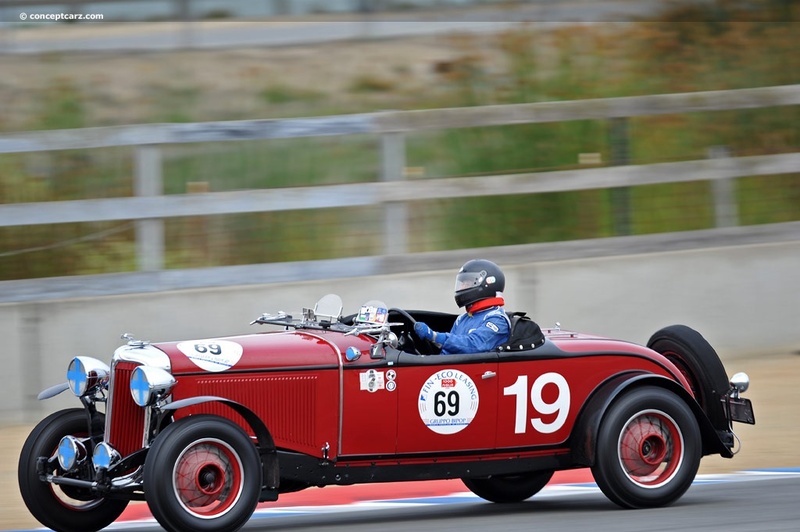 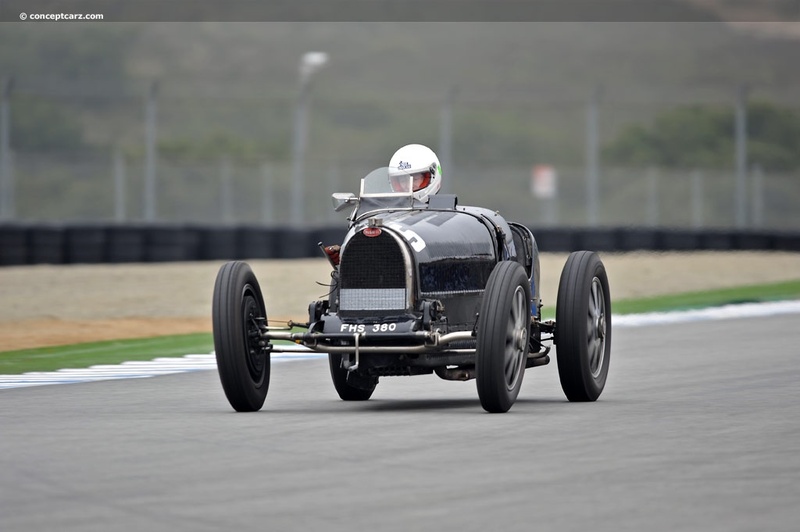 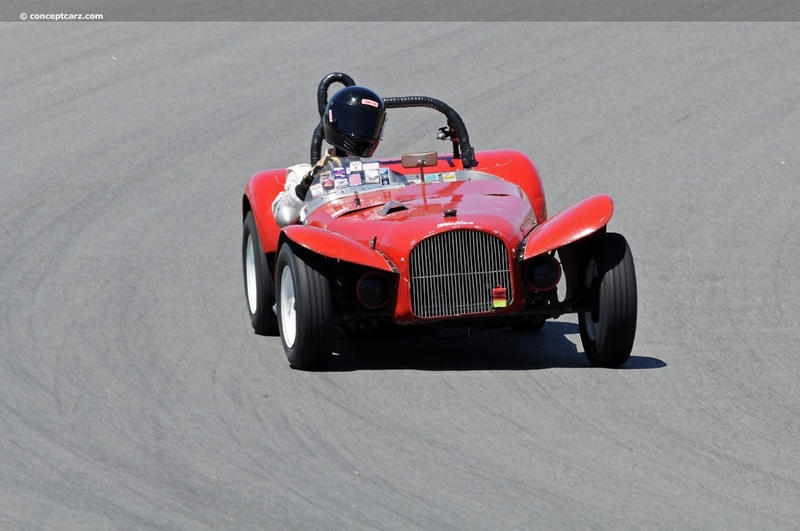 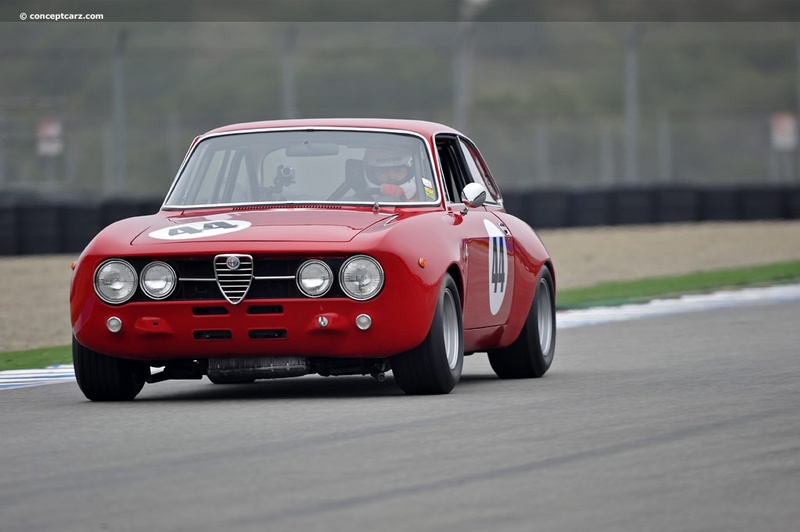 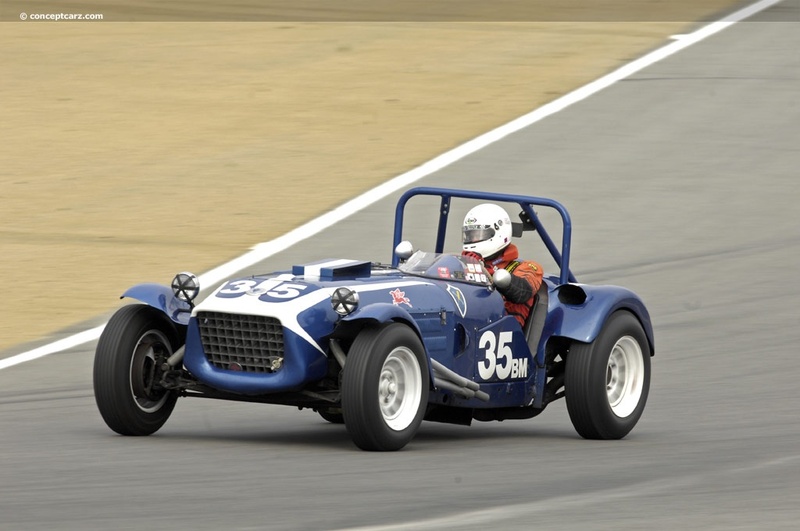 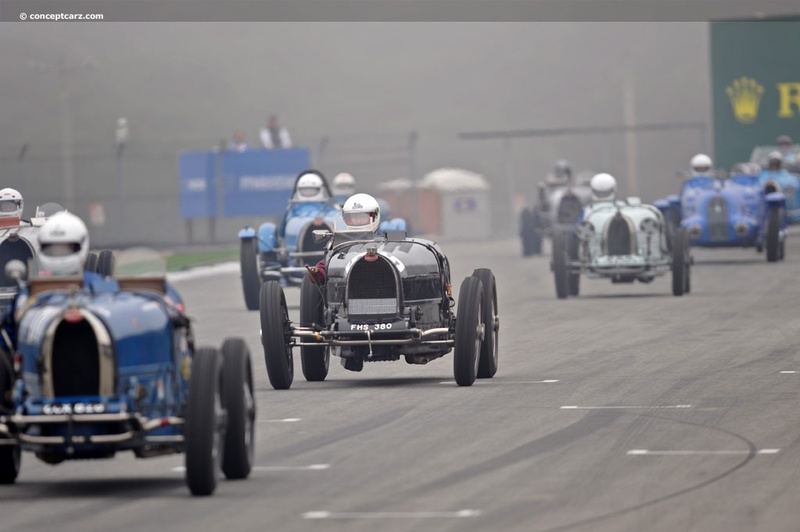 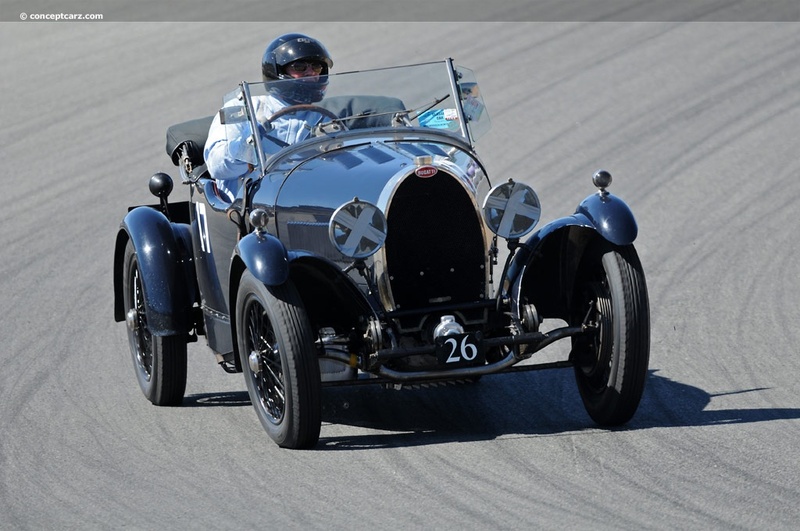 This year's featured races included Bugatti Grand Prix cars and Grand National Stock Car racing, each receiving their own exclusive group. 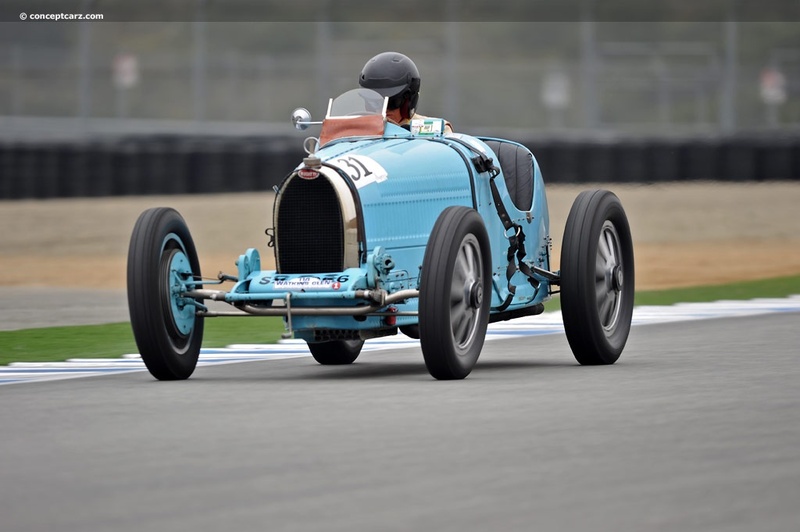 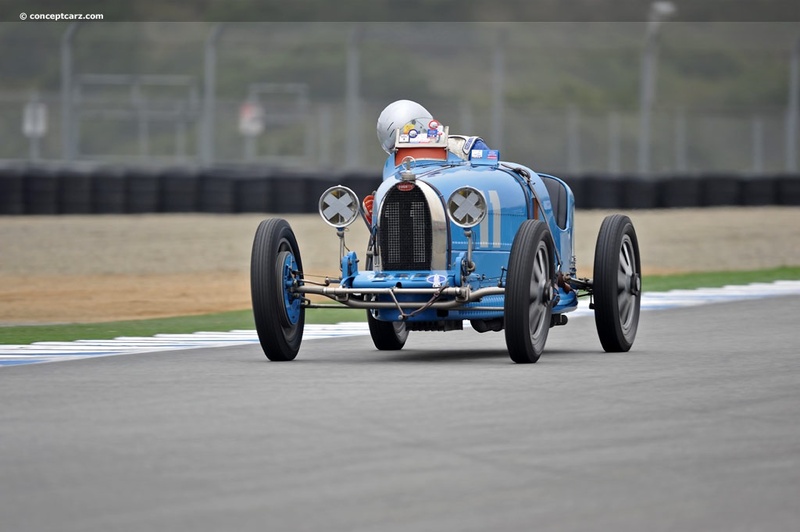 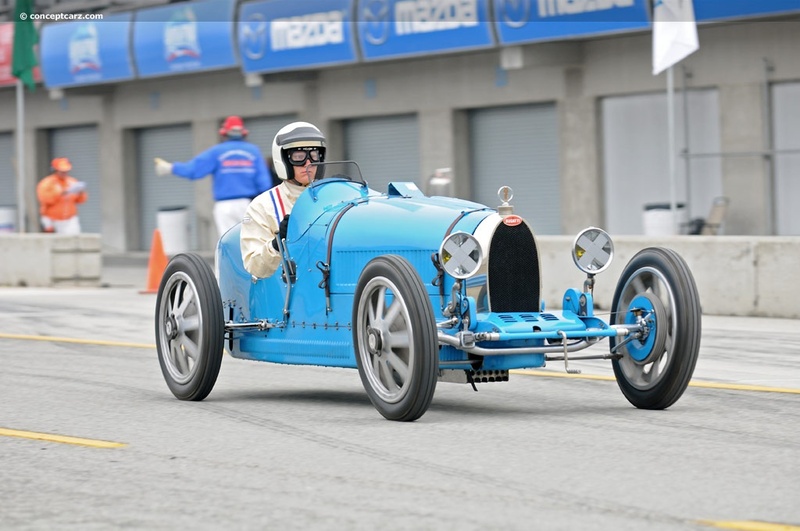 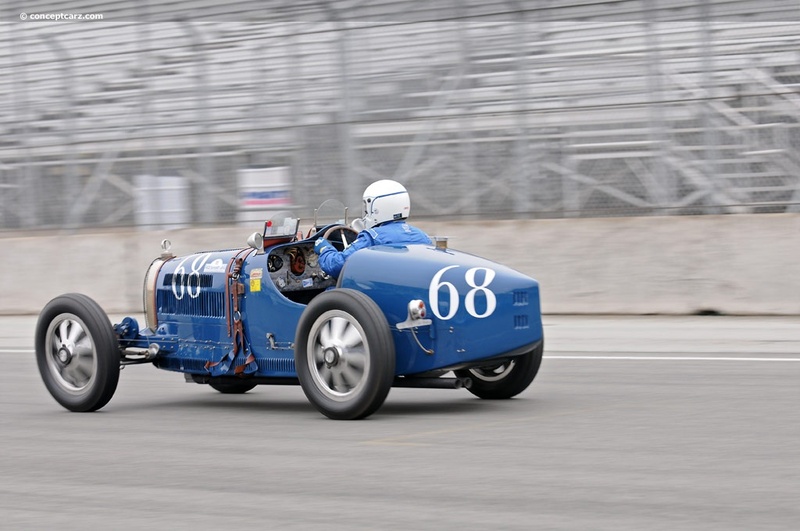 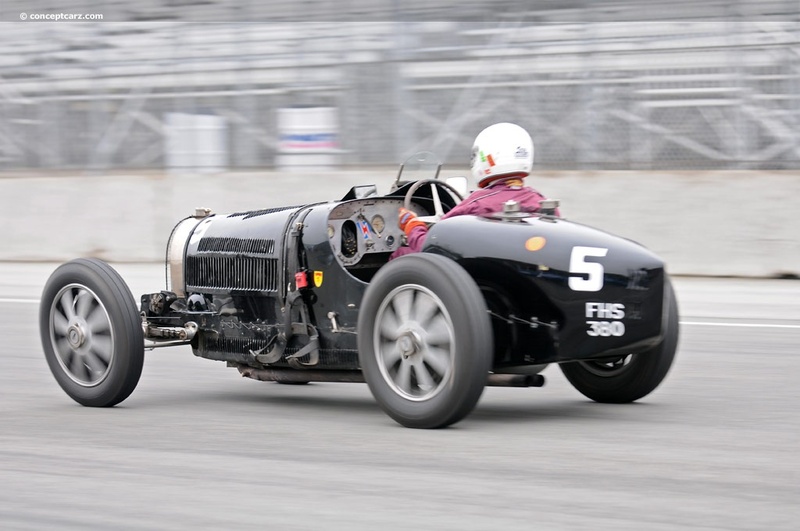 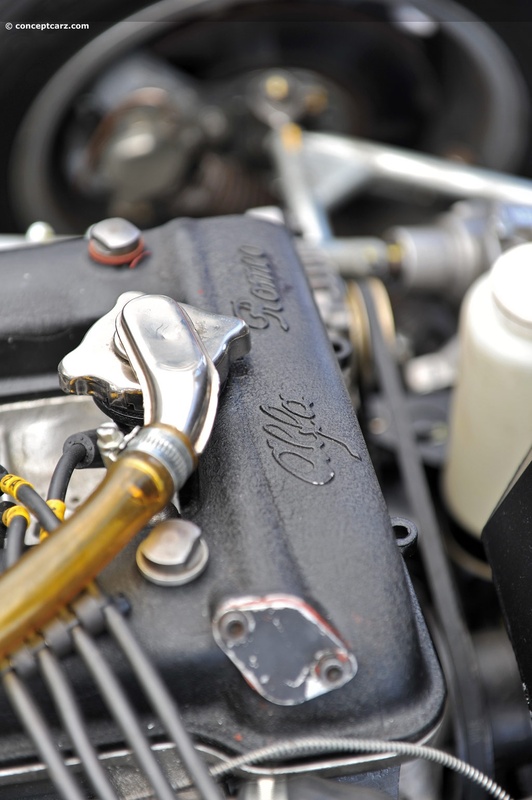 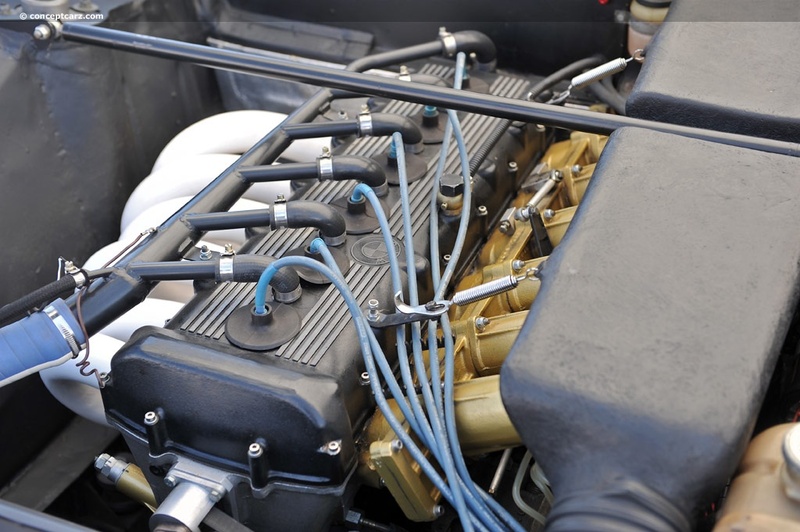 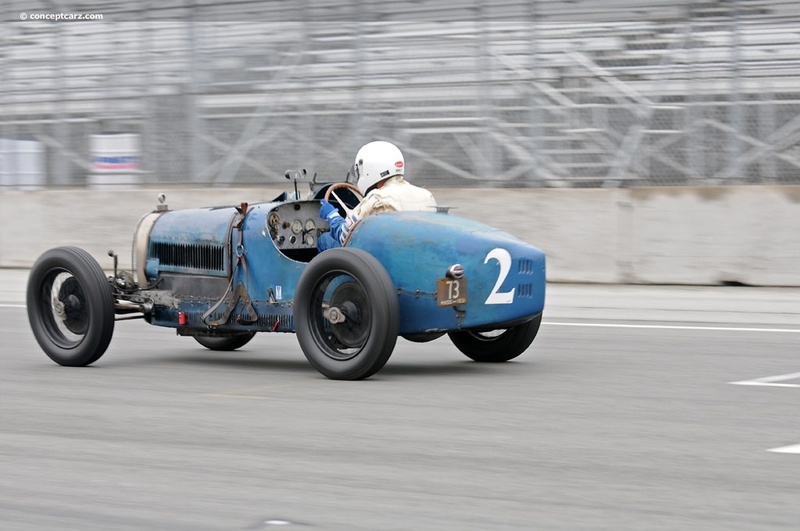 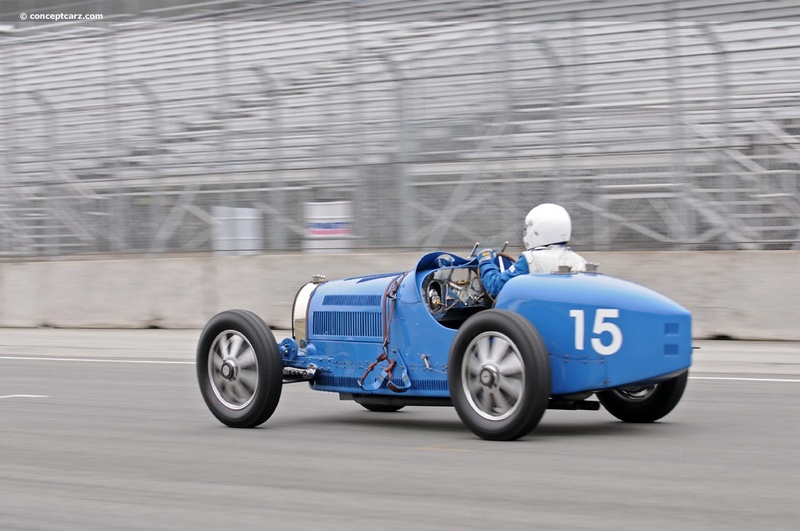 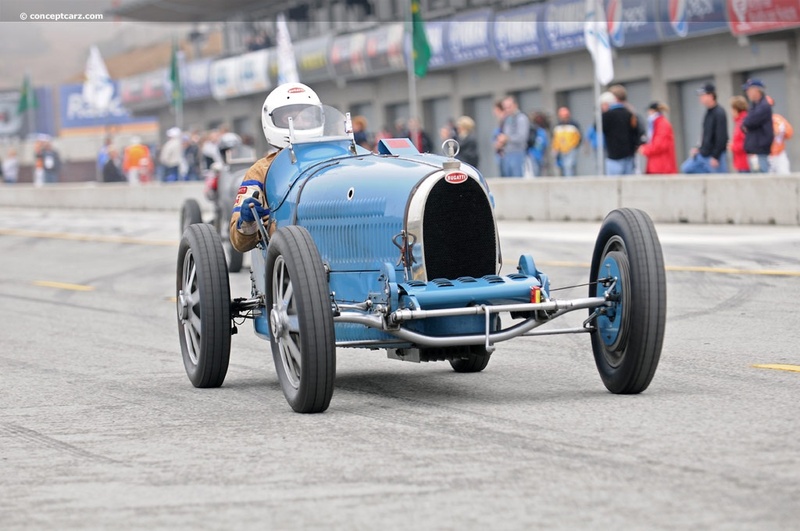 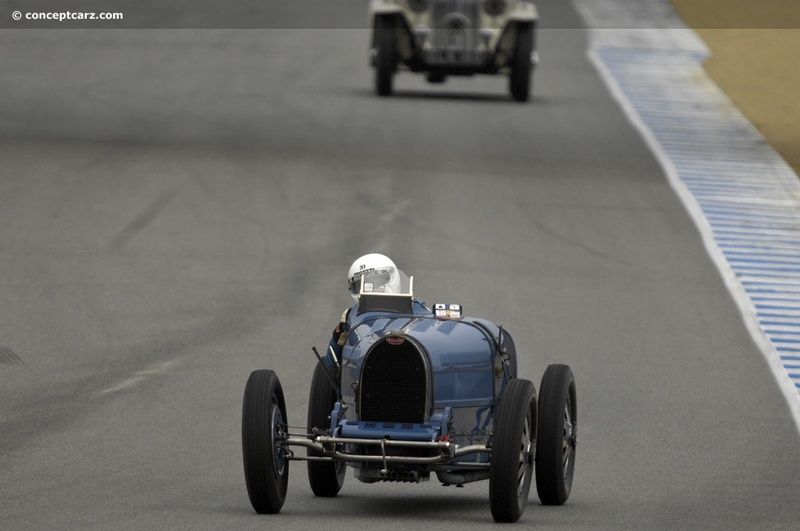 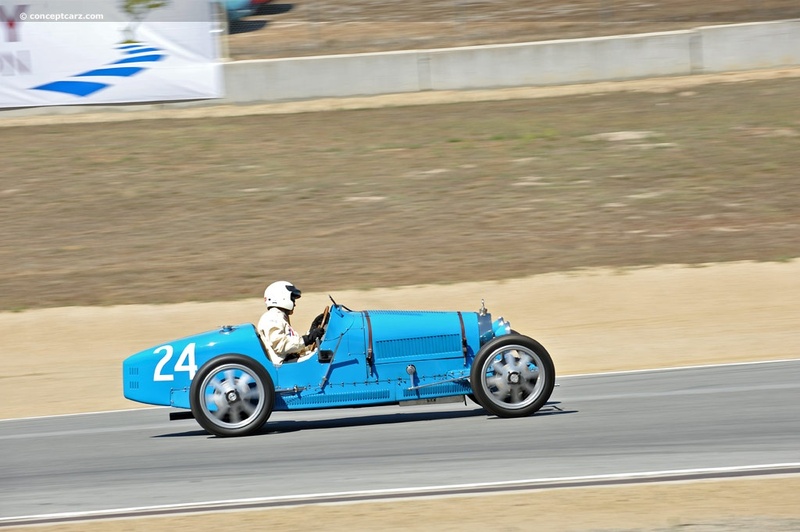 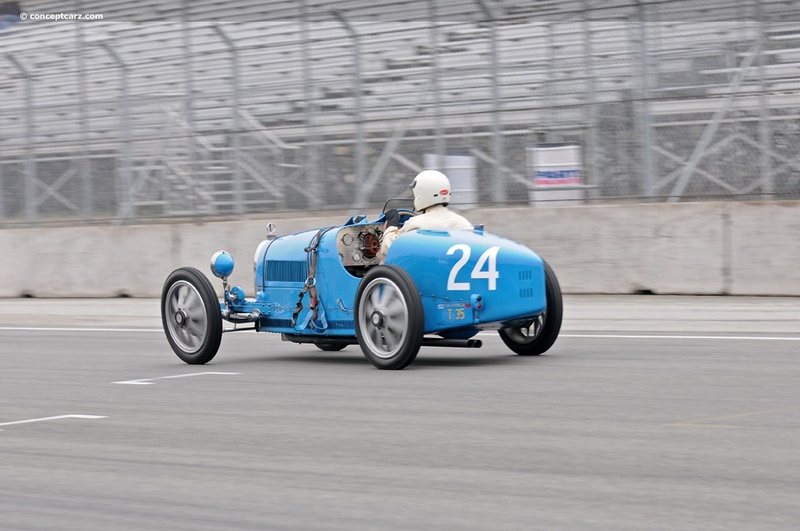 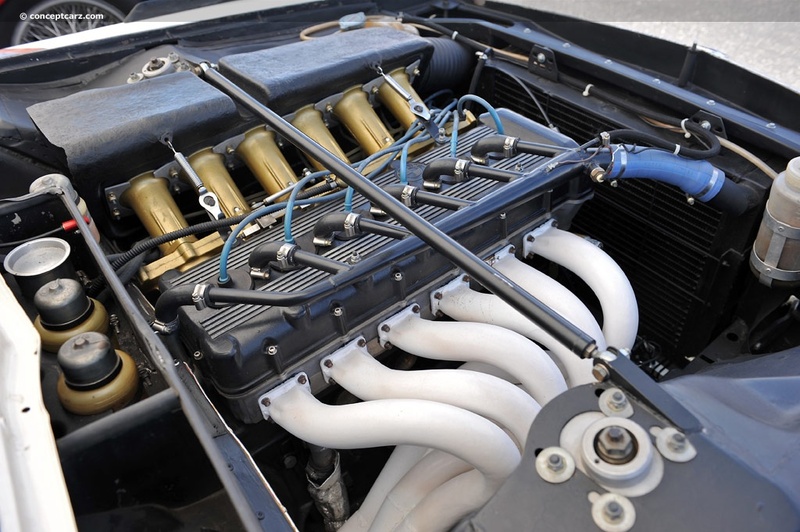 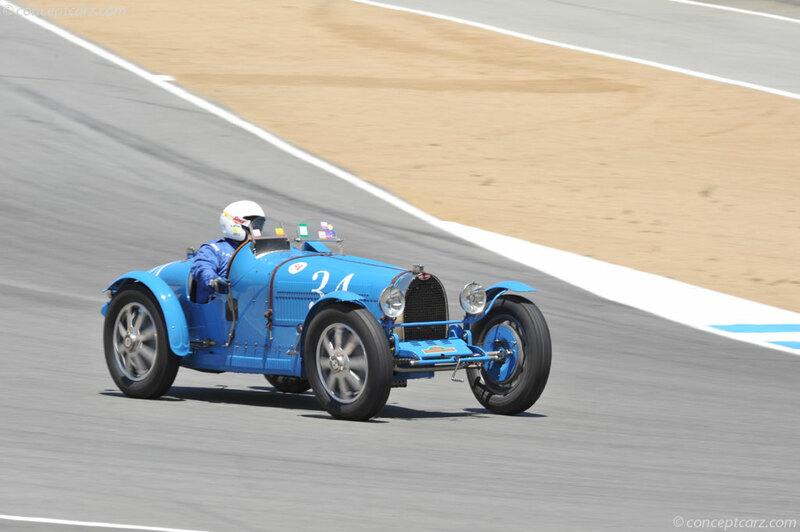 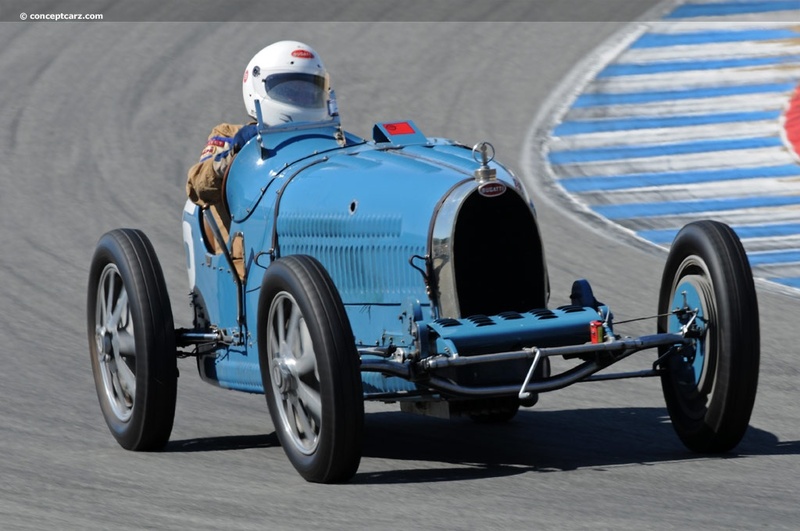 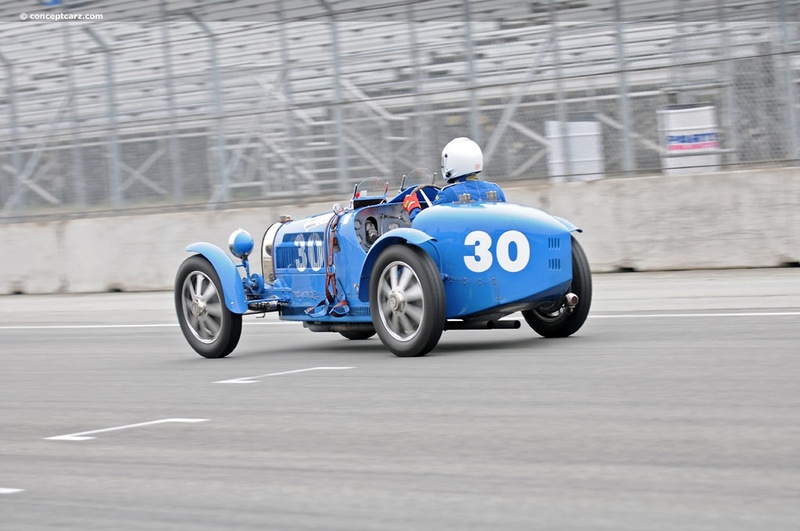 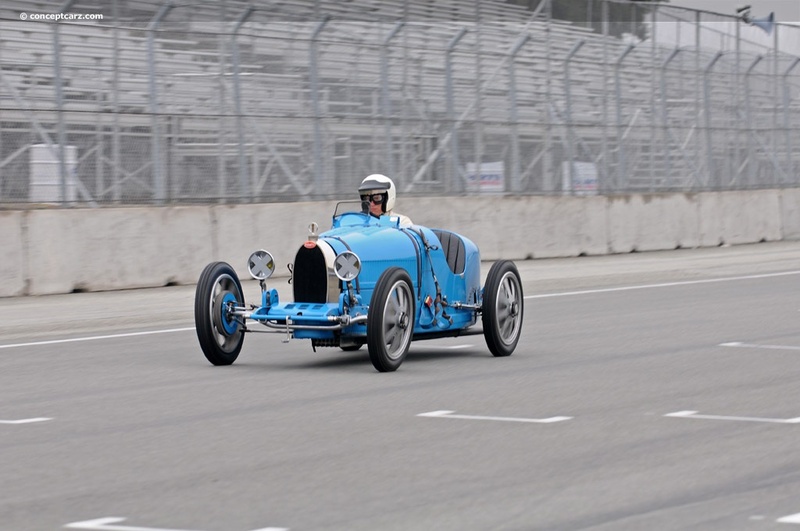 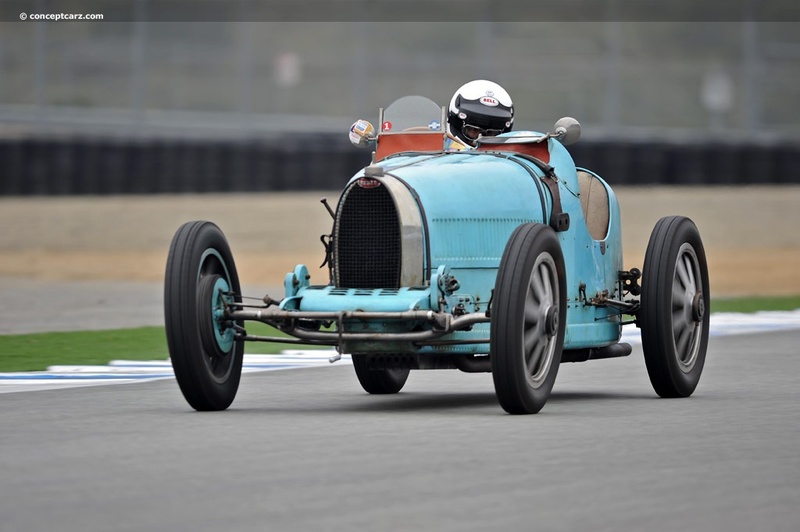 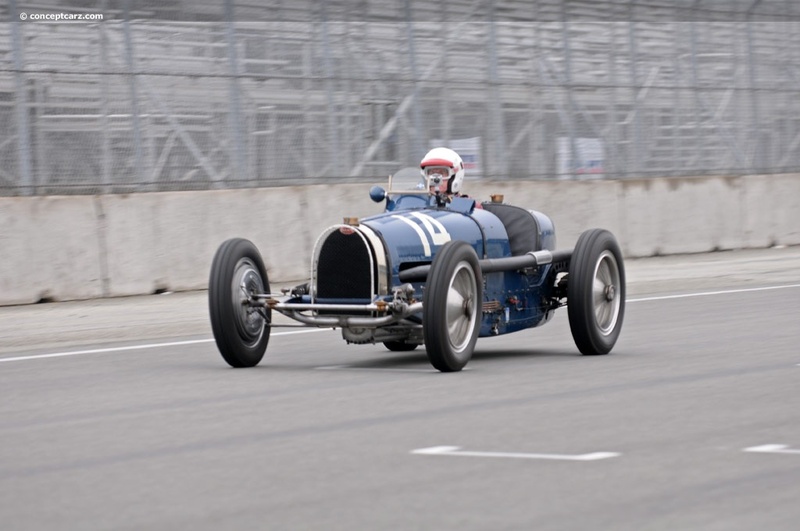 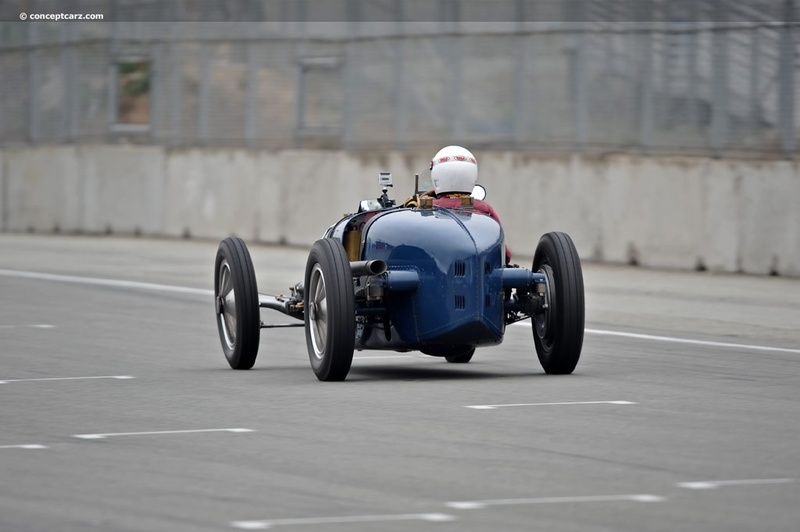 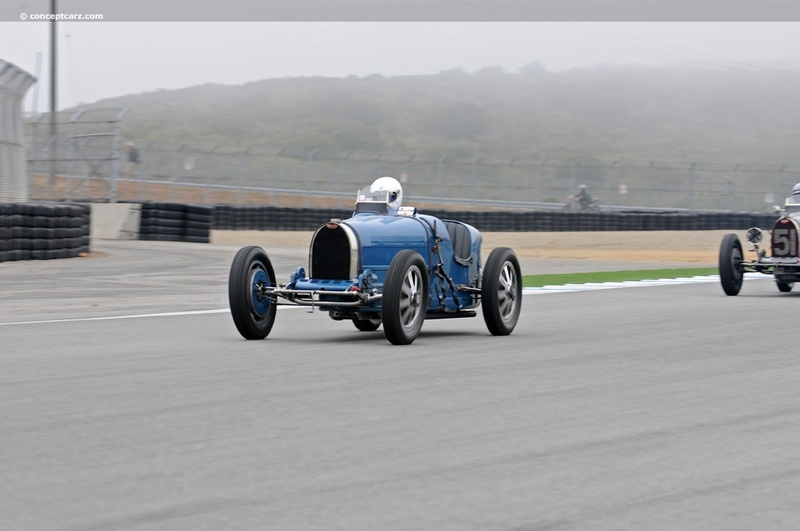 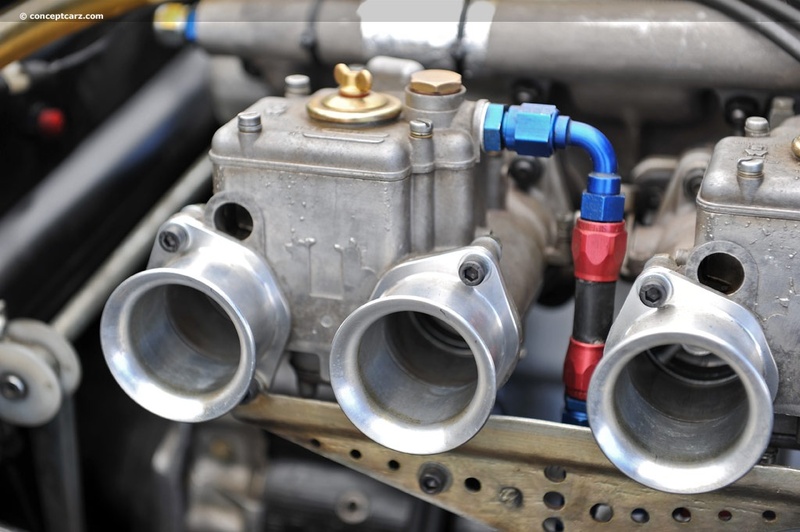 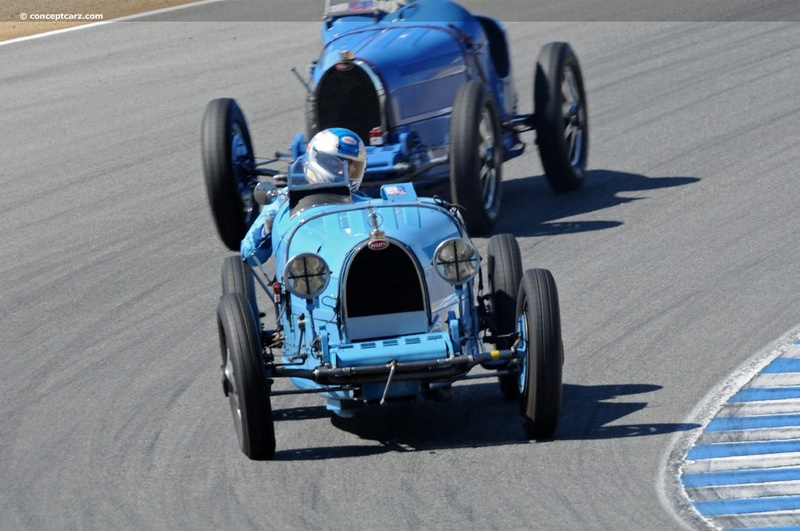 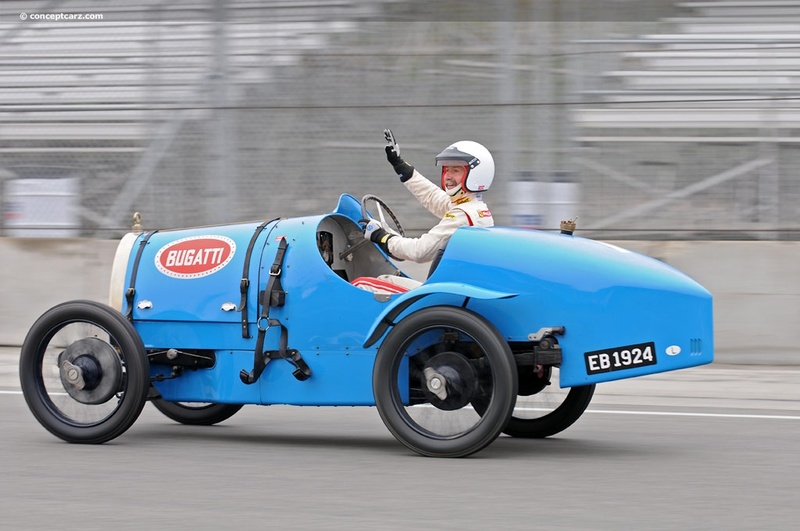 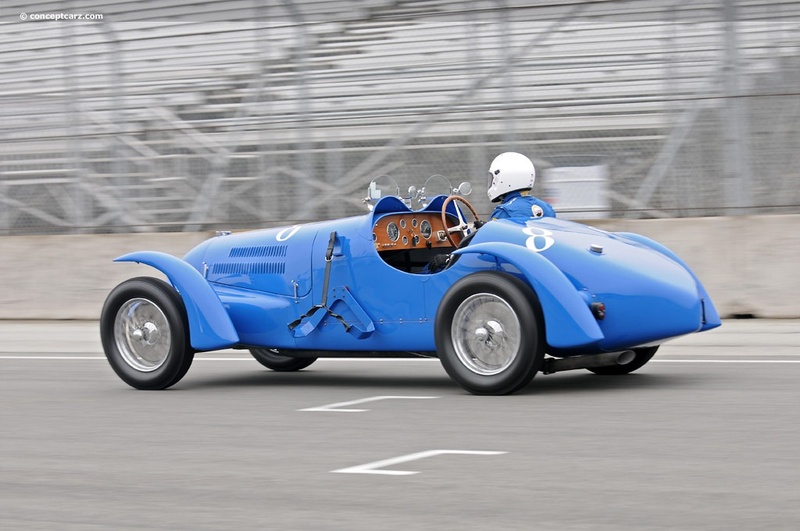 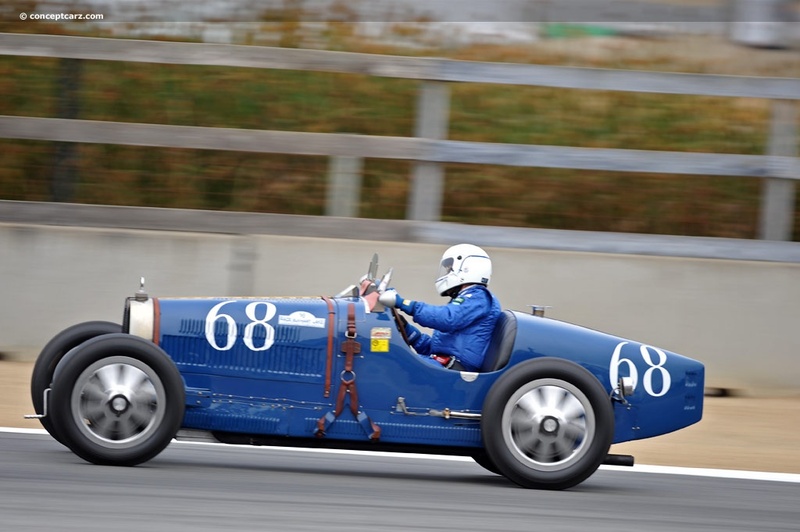 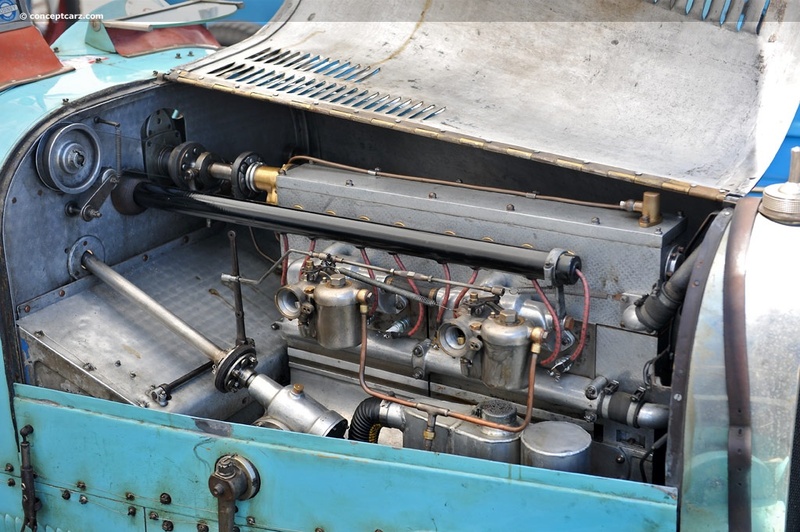 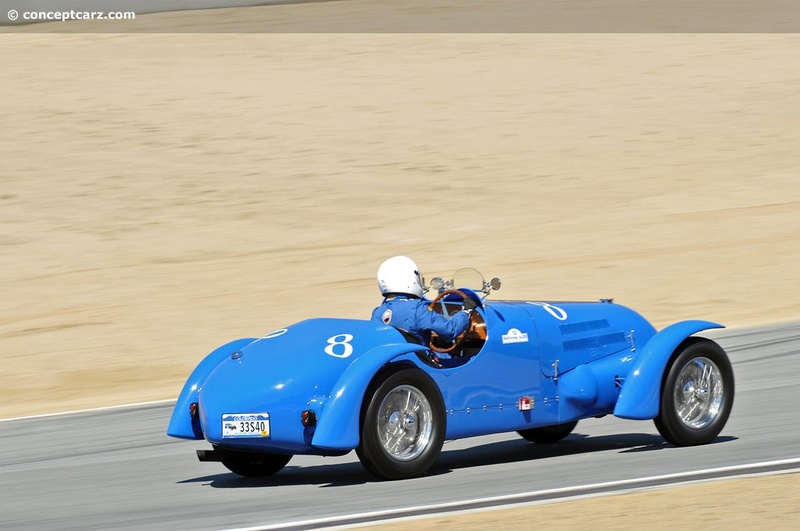 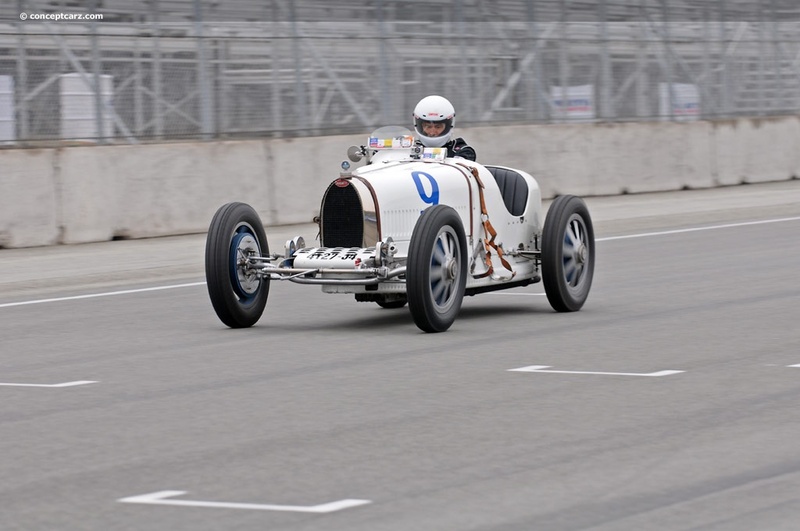 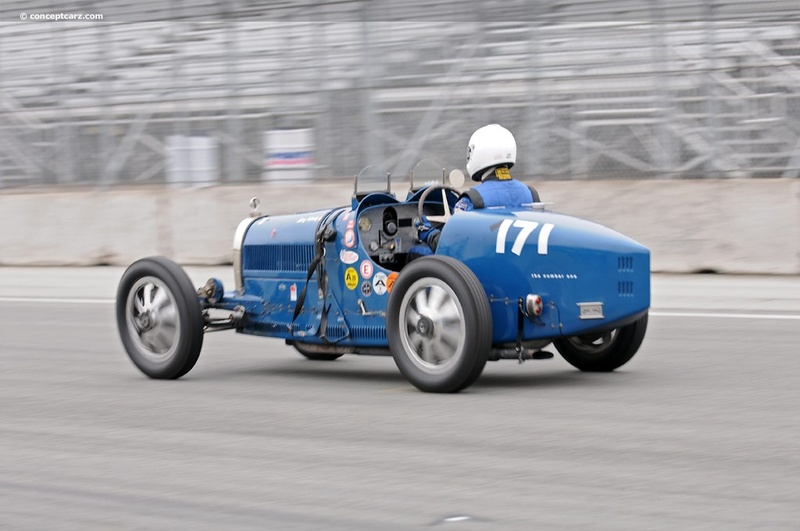 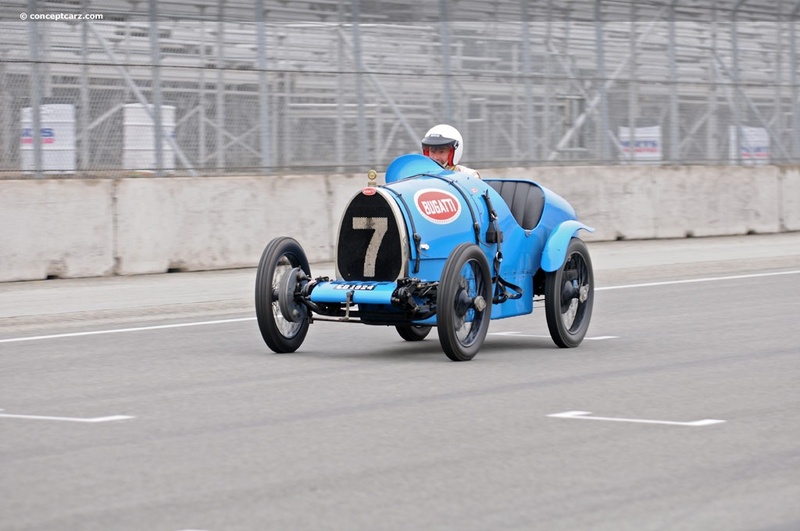 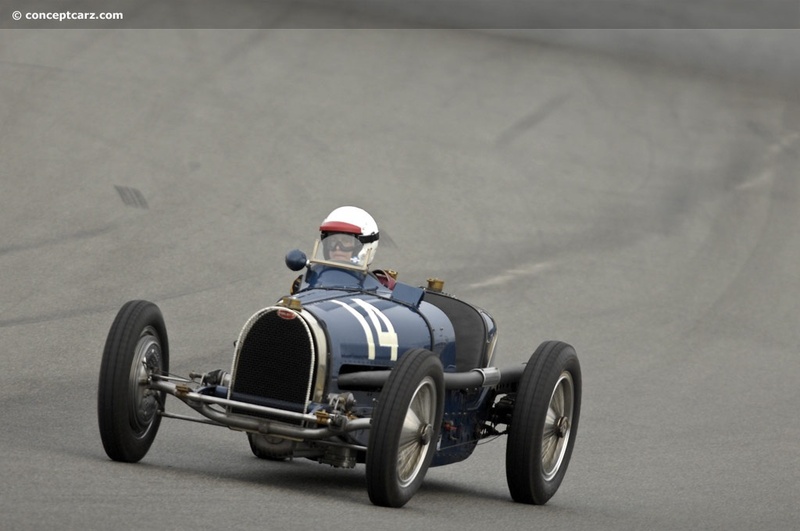 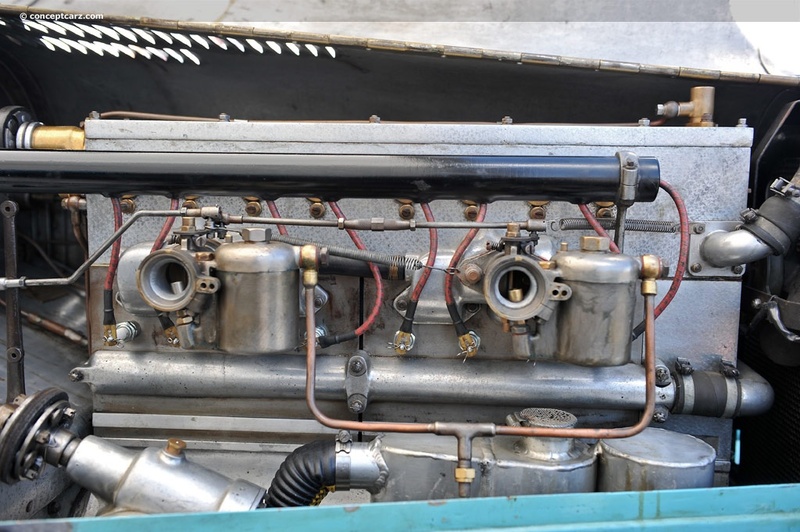 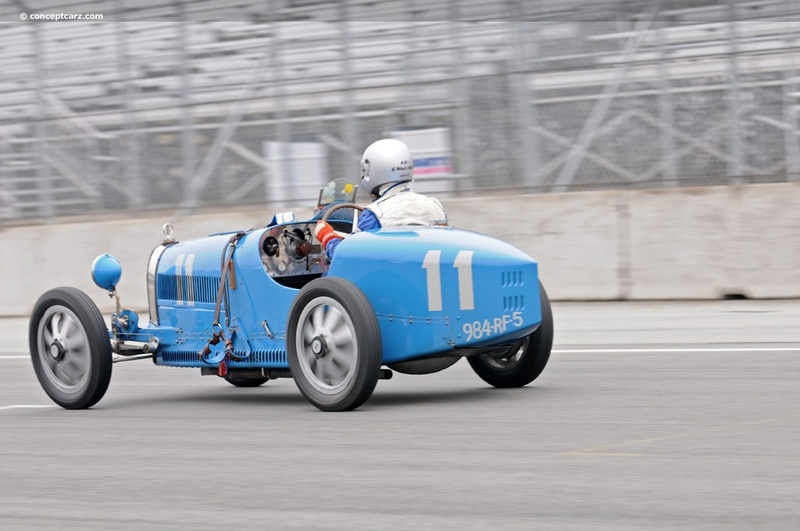 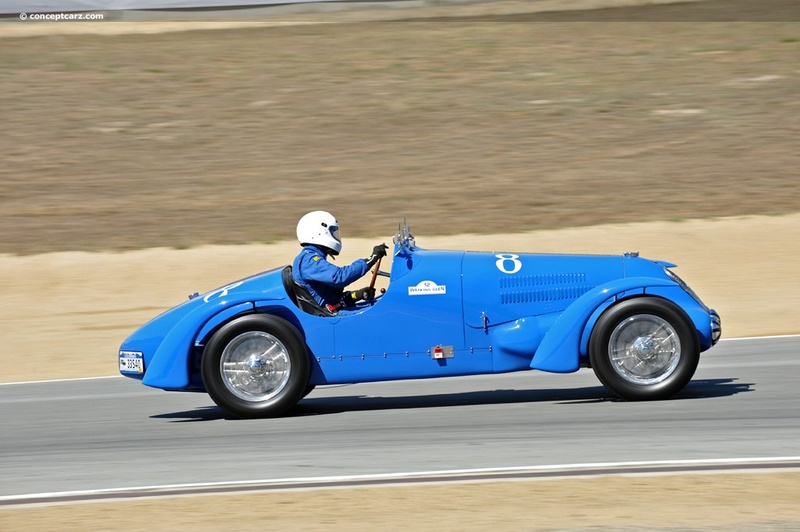 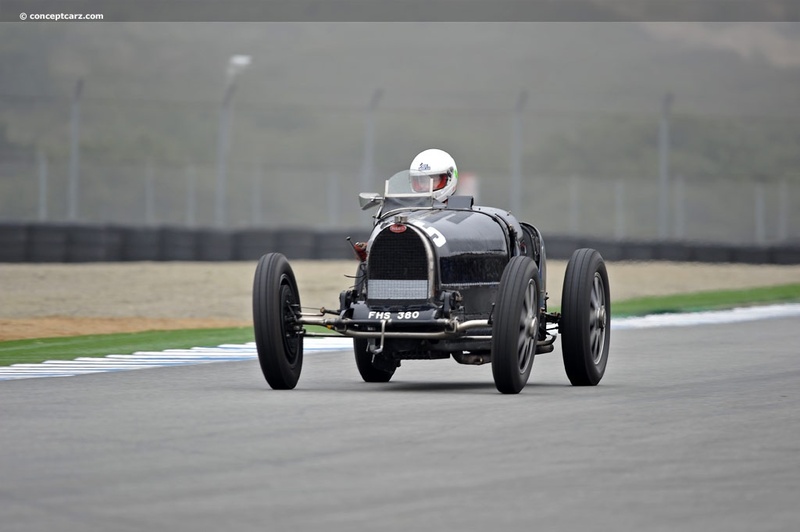 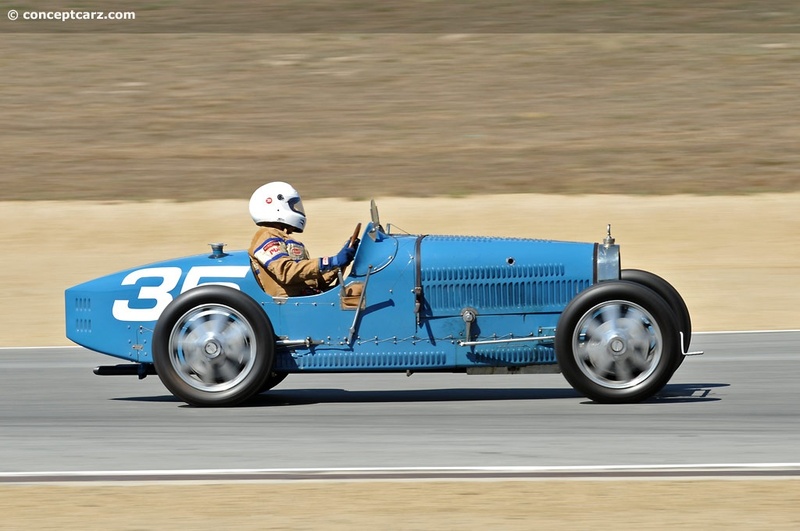 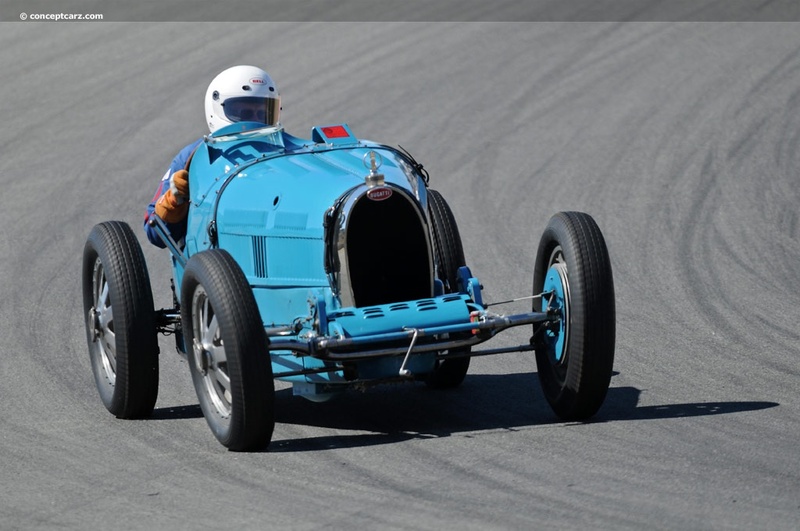 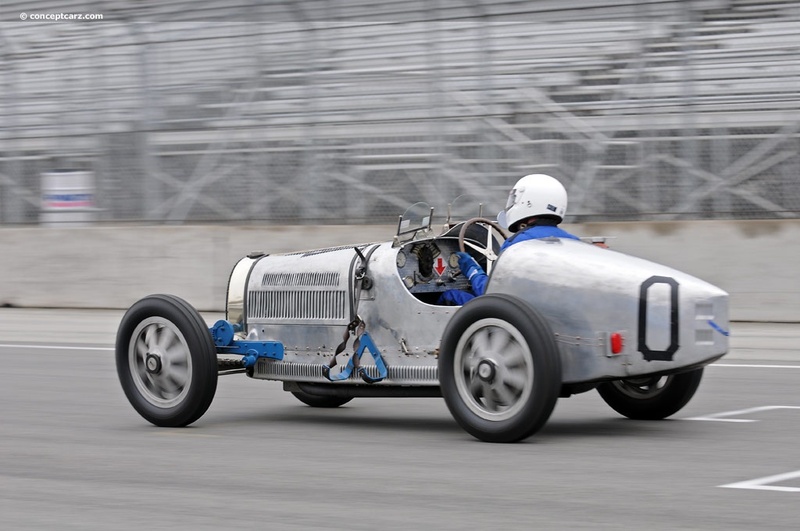 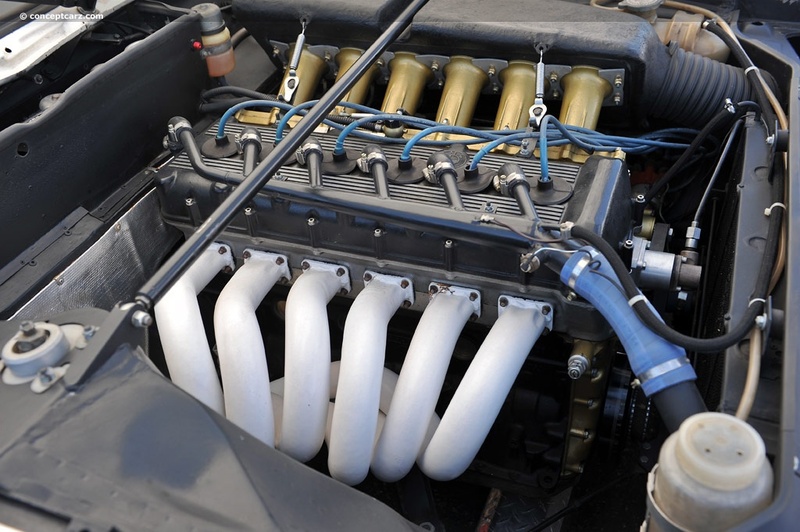 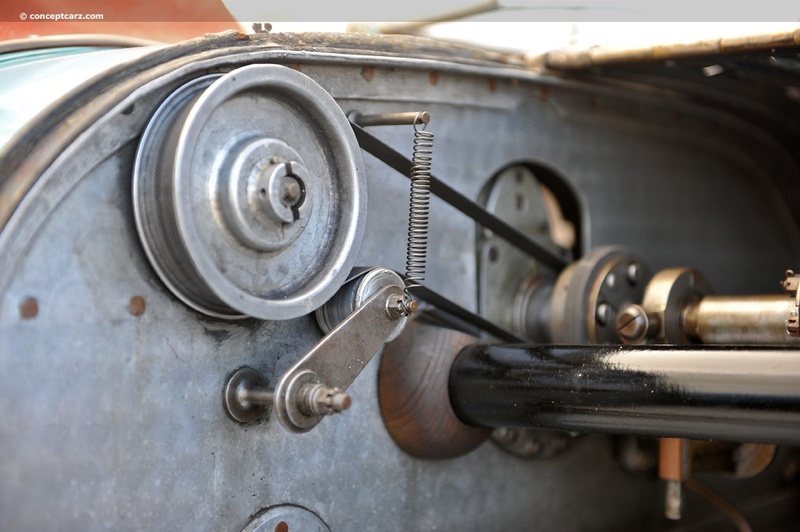 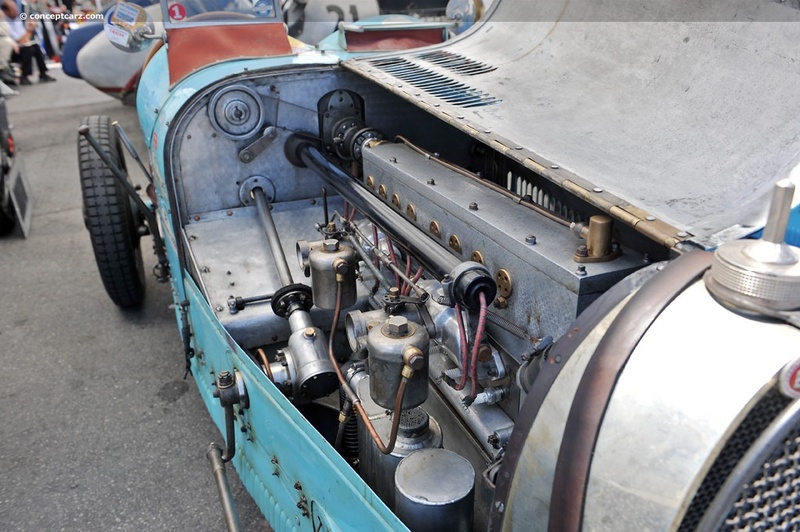 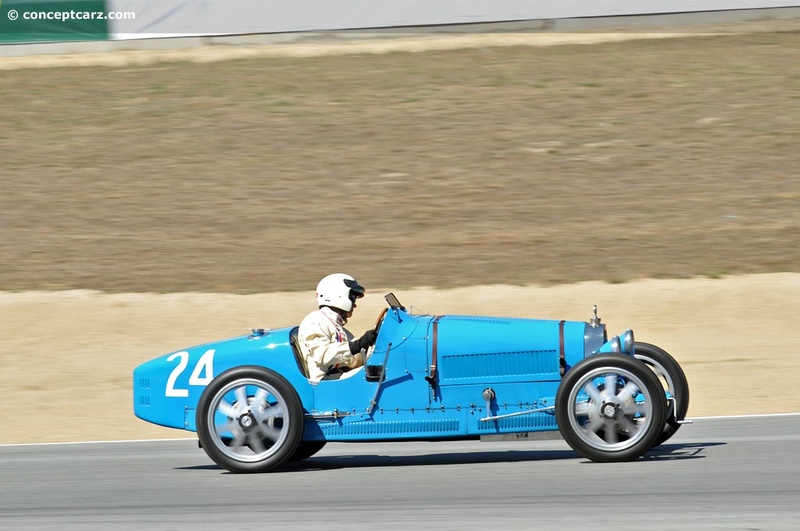 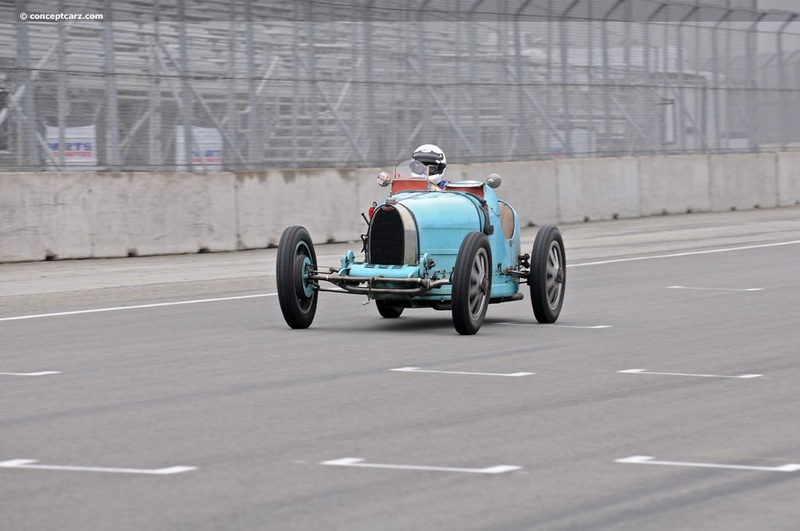 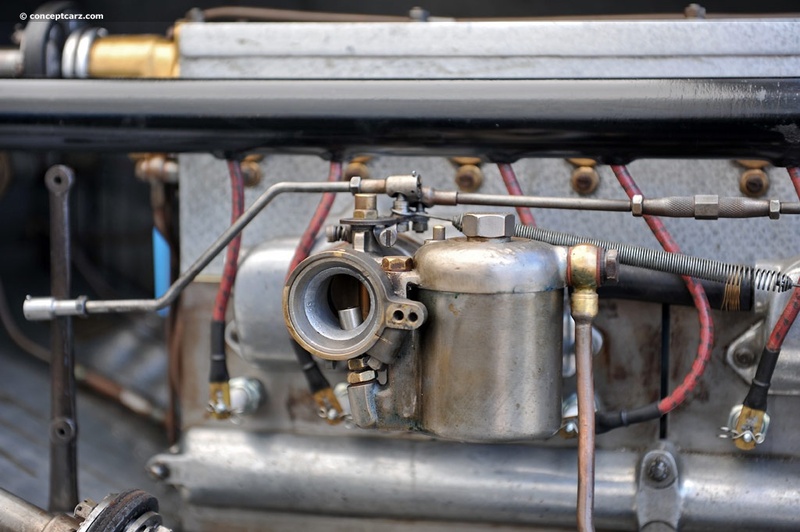 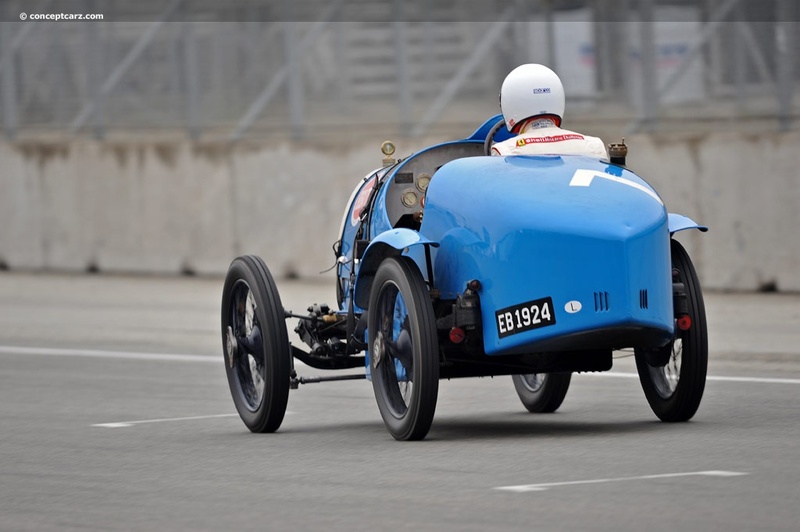 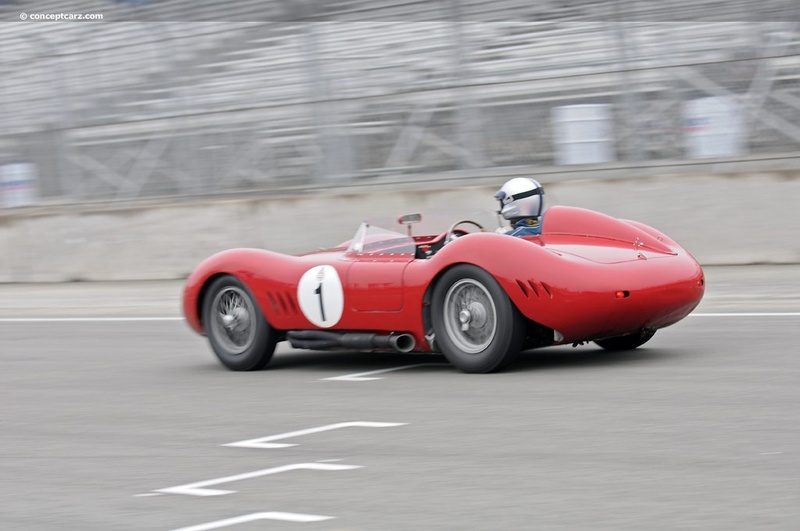 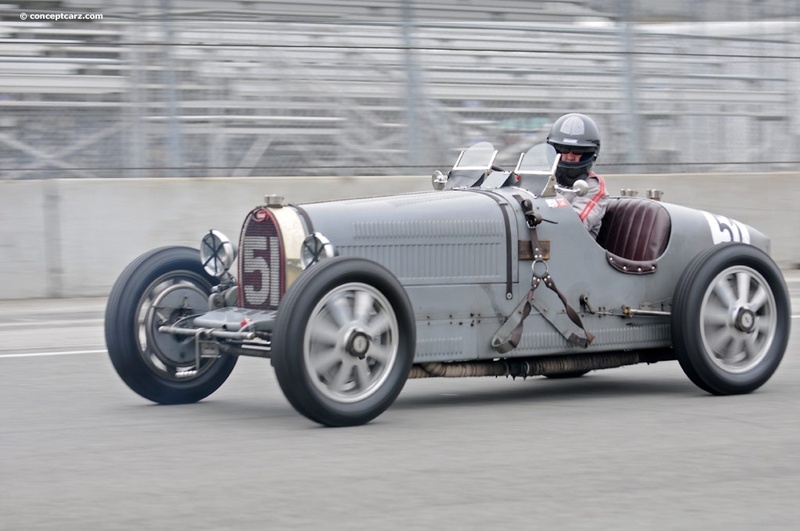 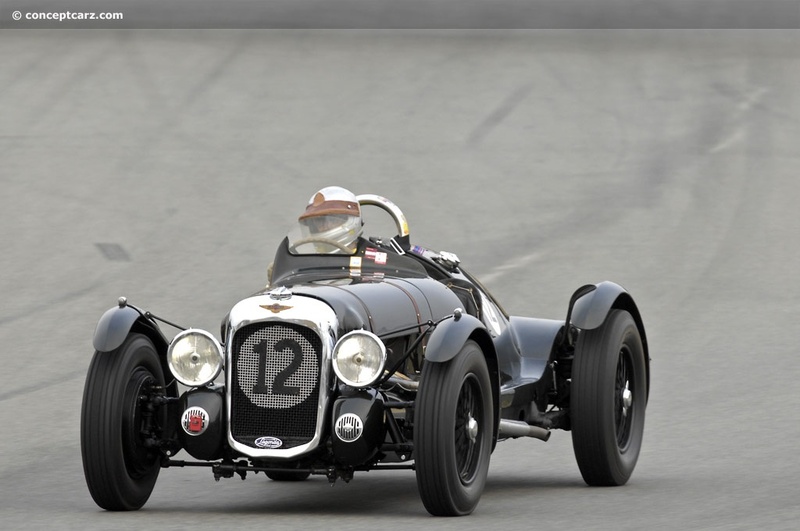 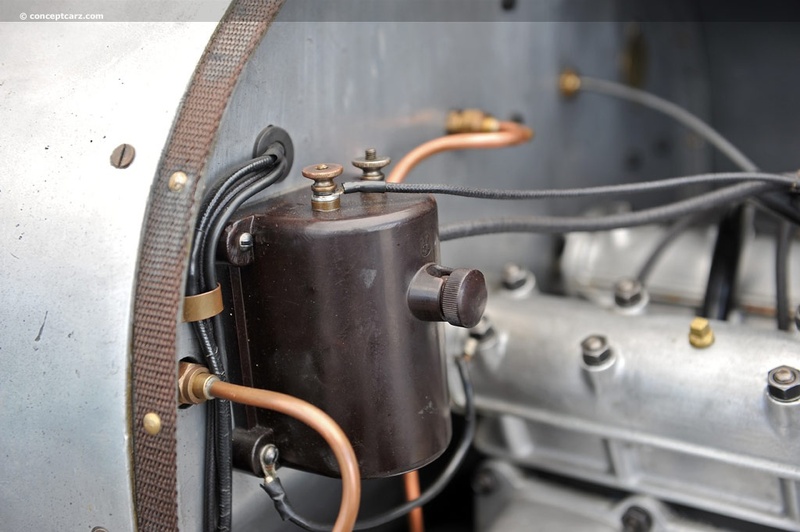 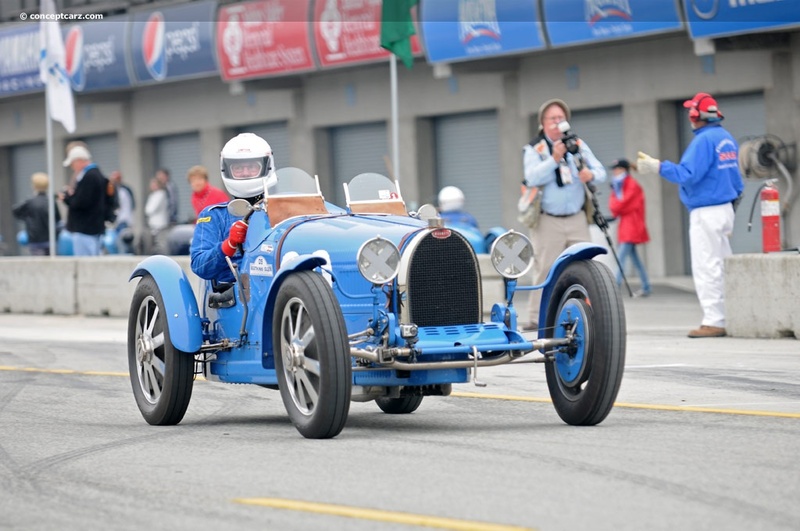 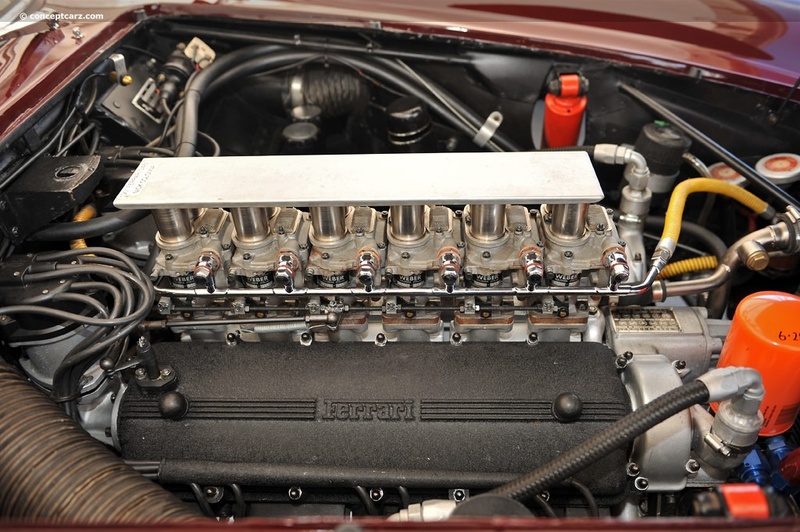 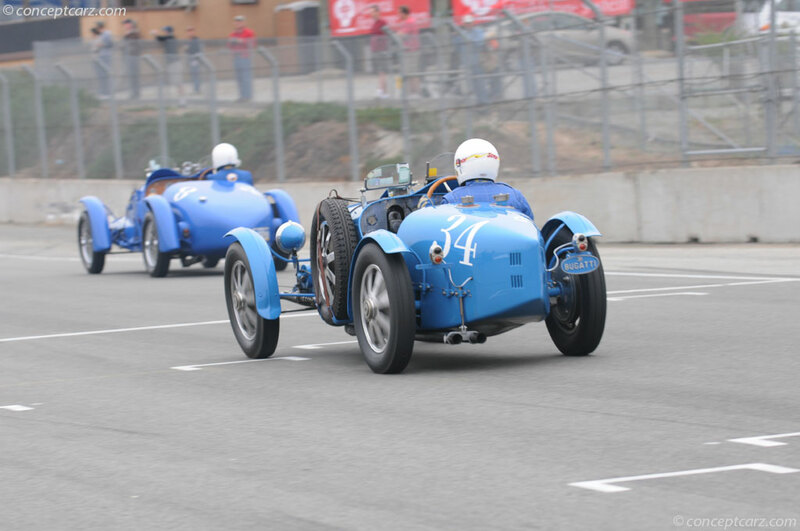 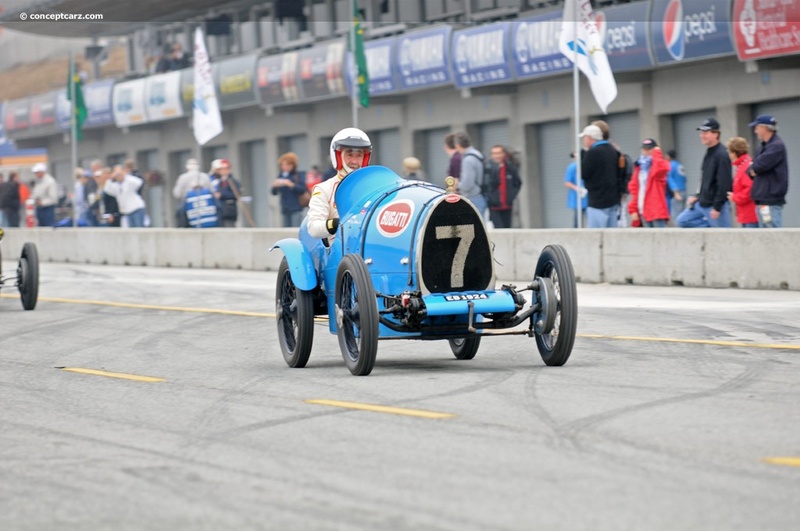 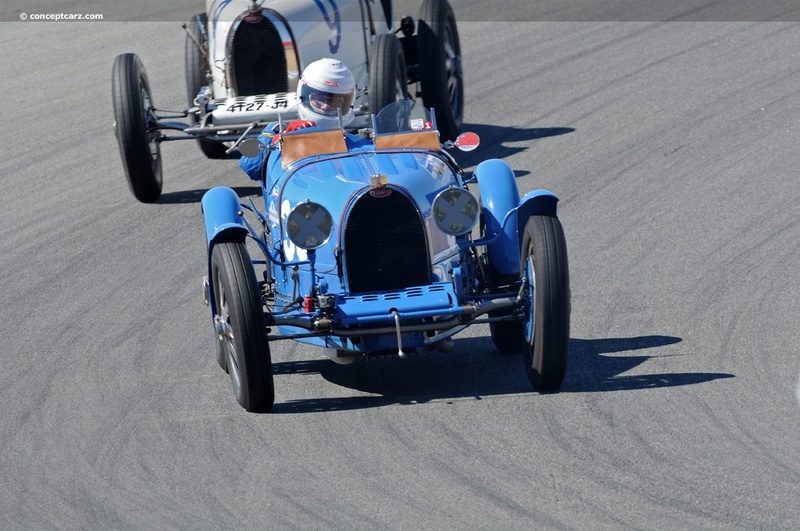 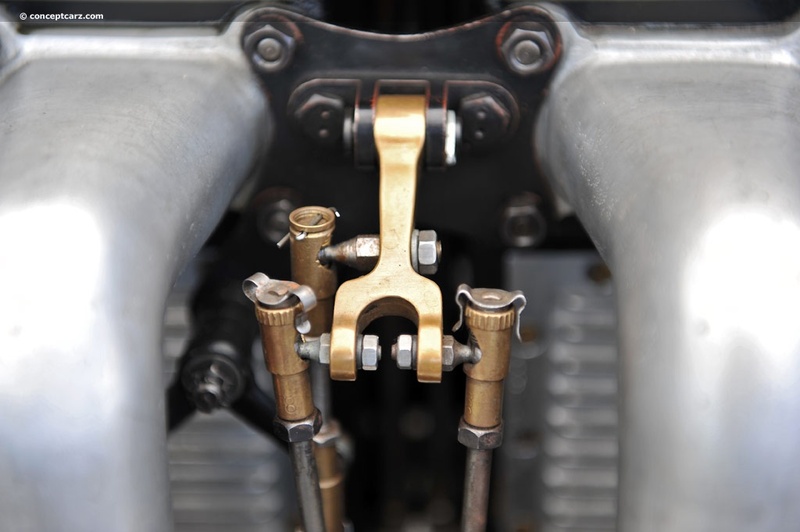 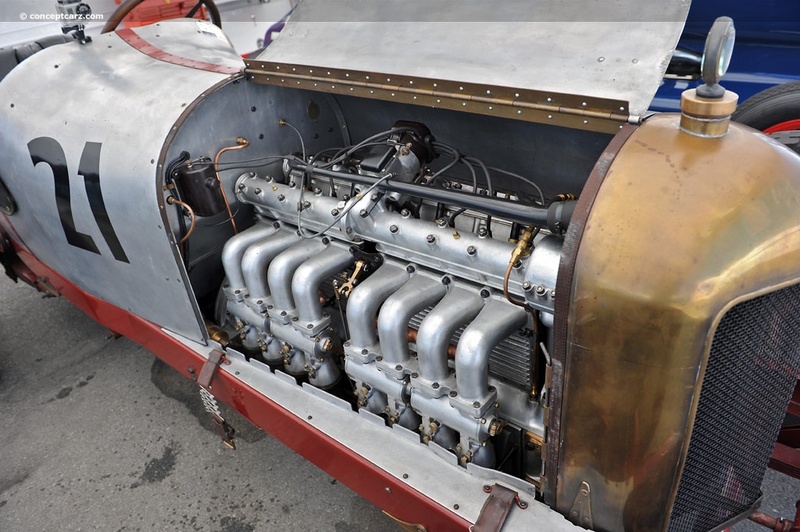 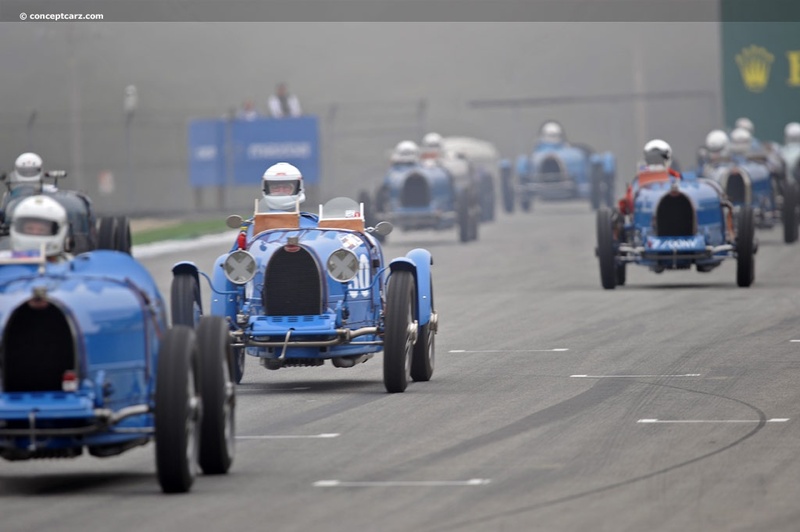 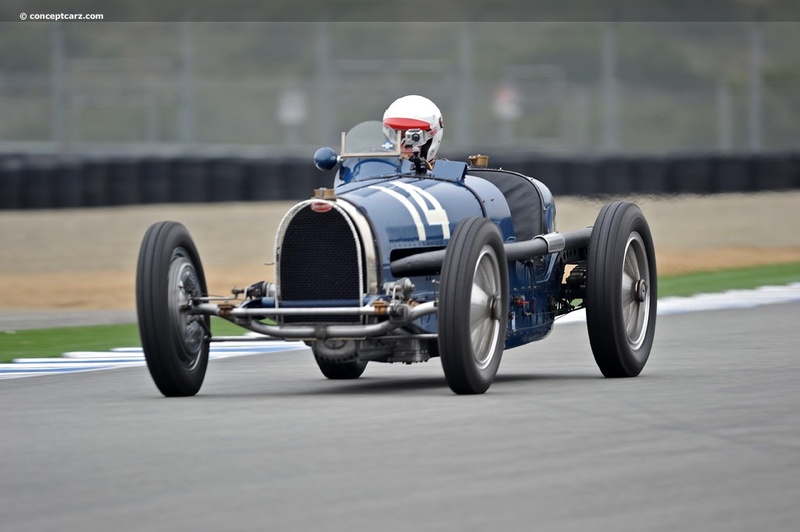 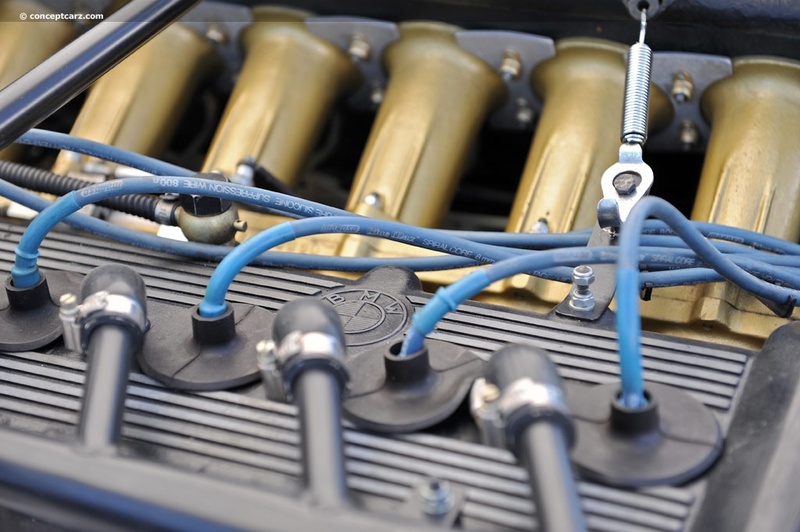 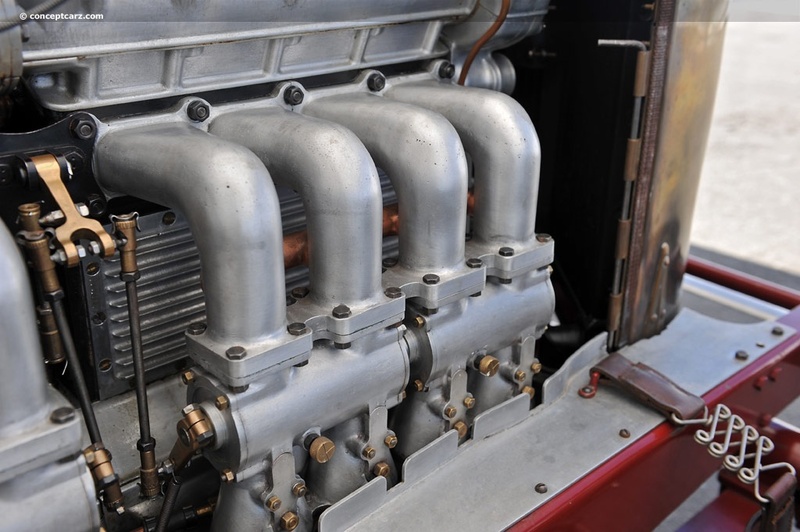 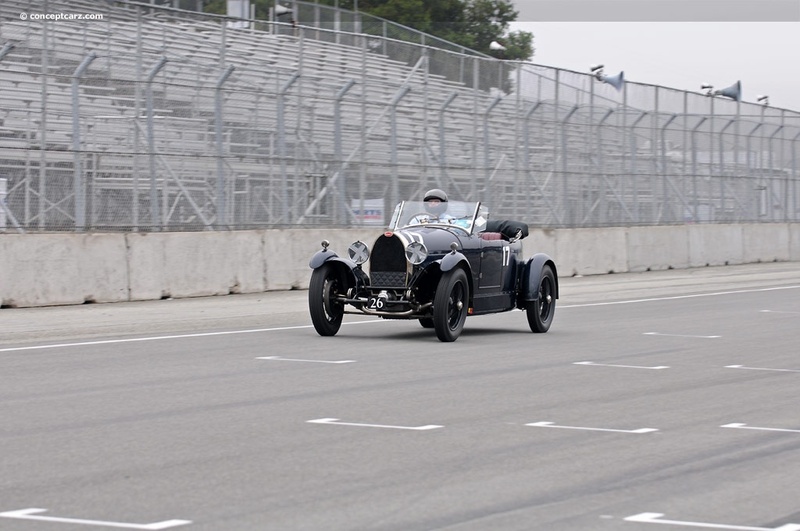 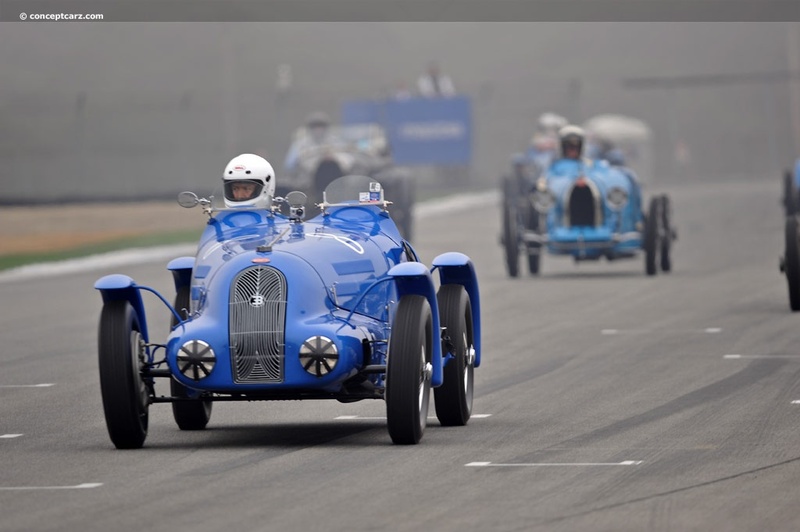 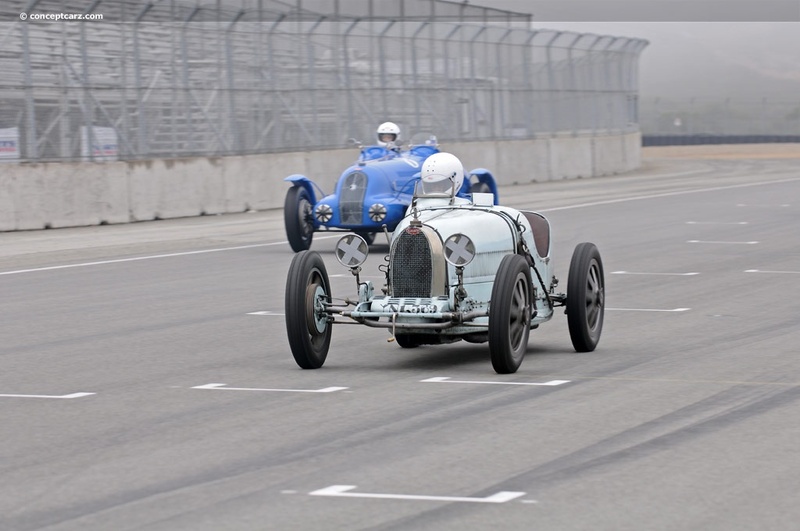 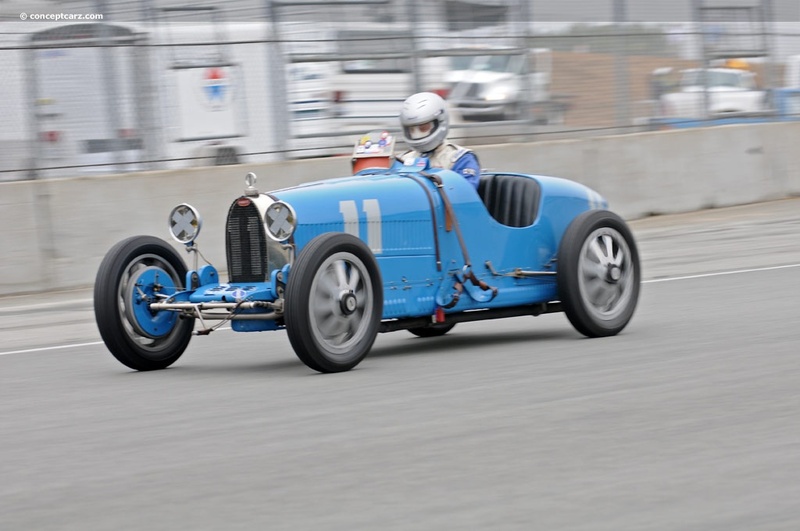 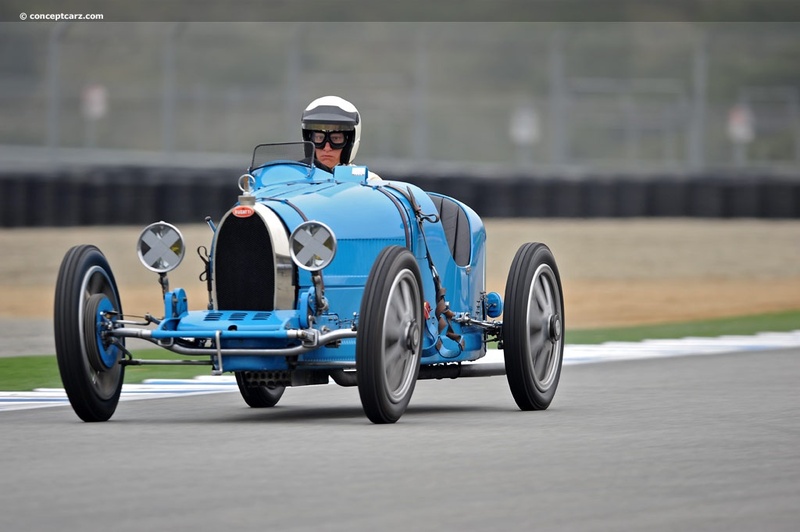 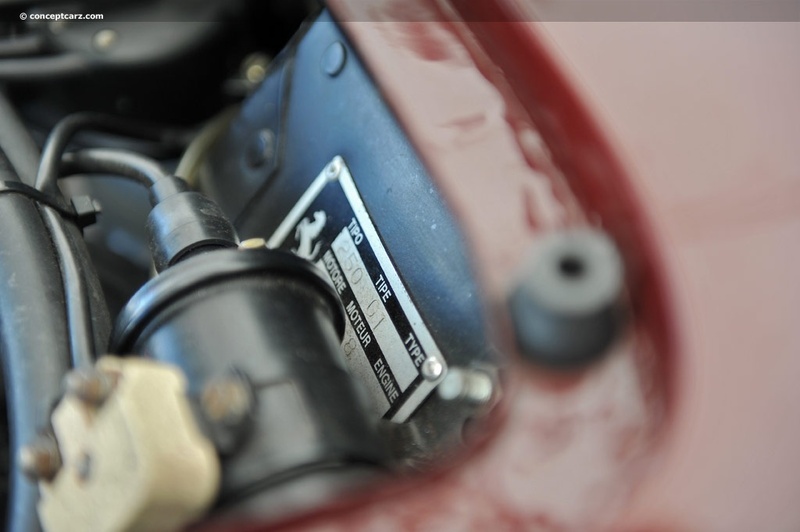 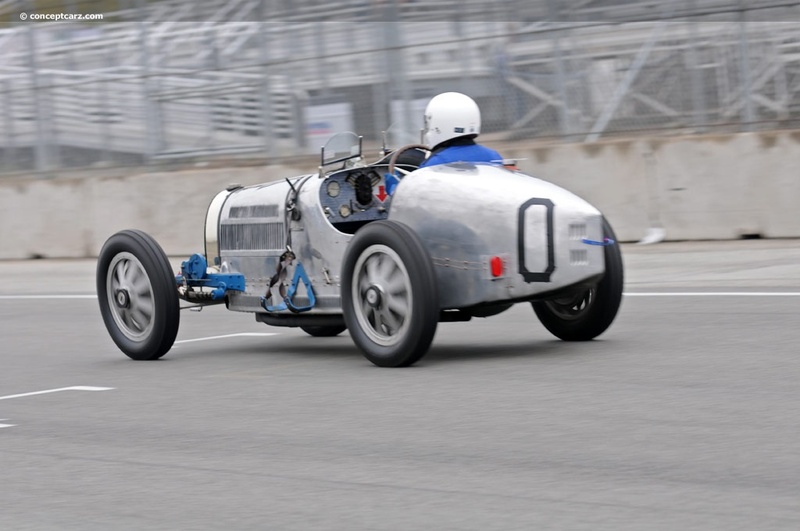 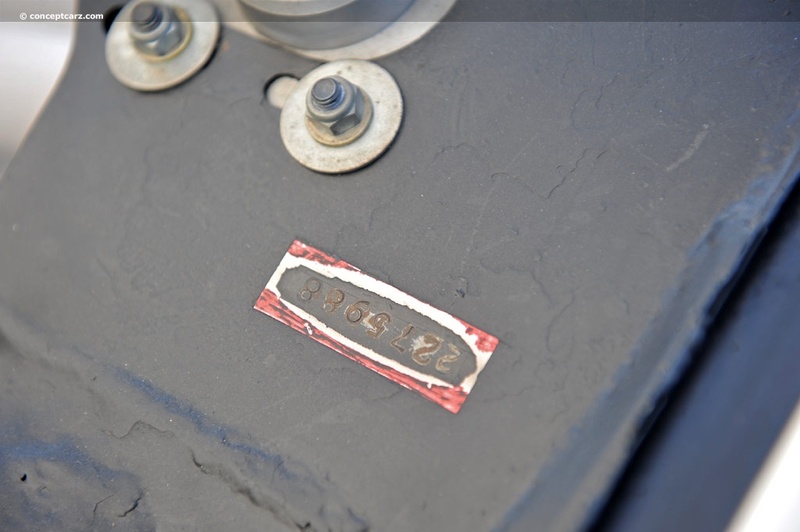 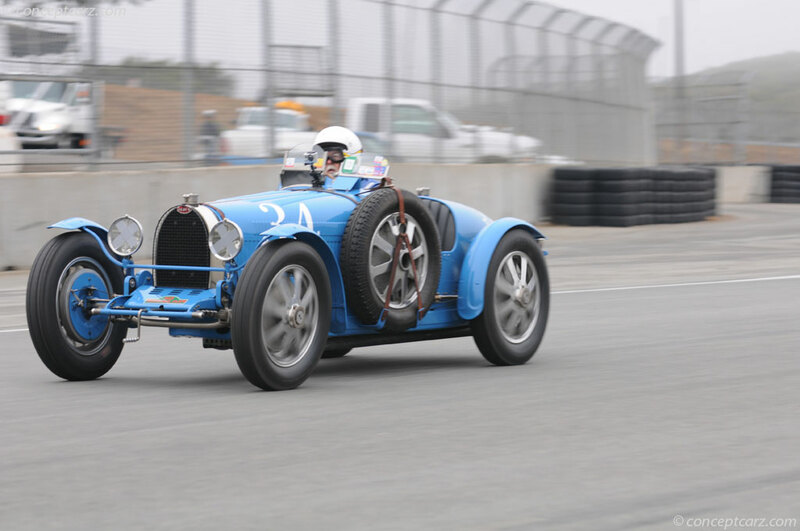 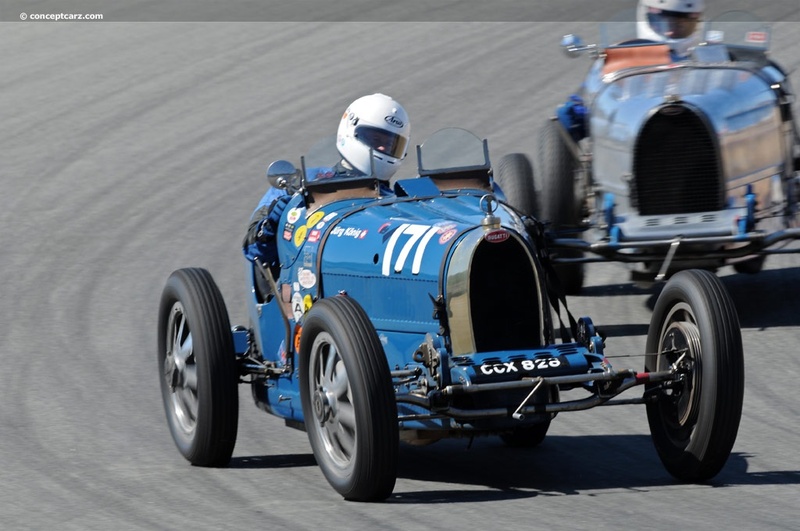 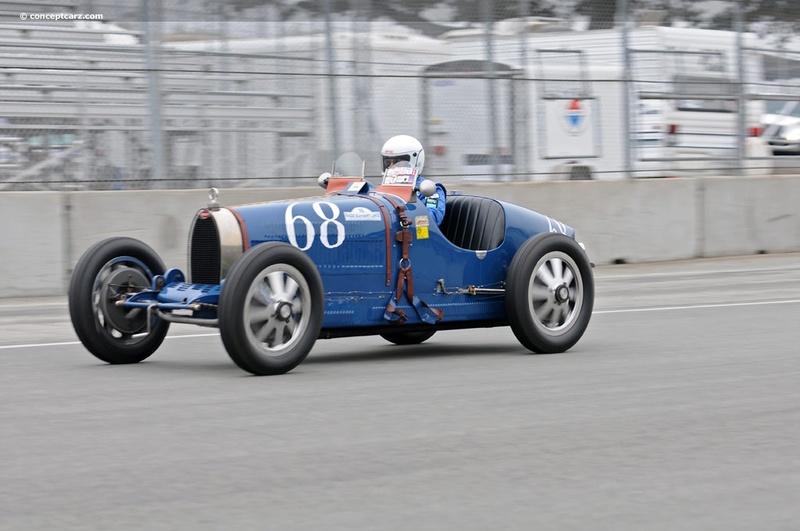 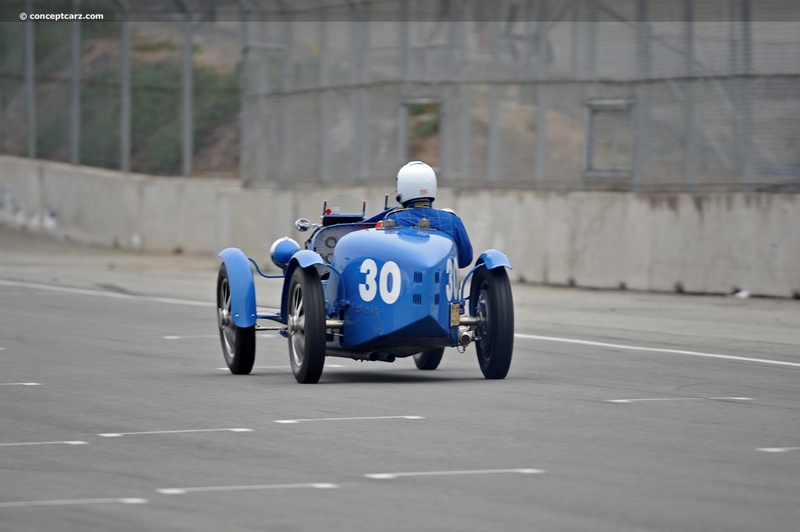 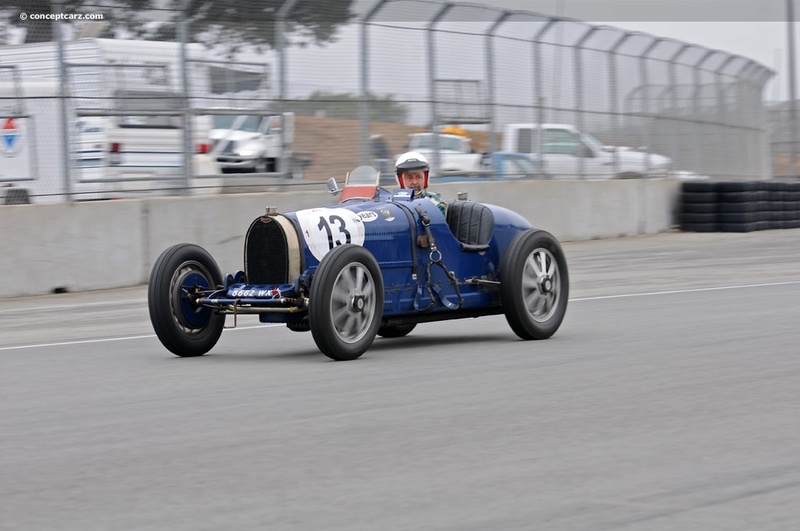 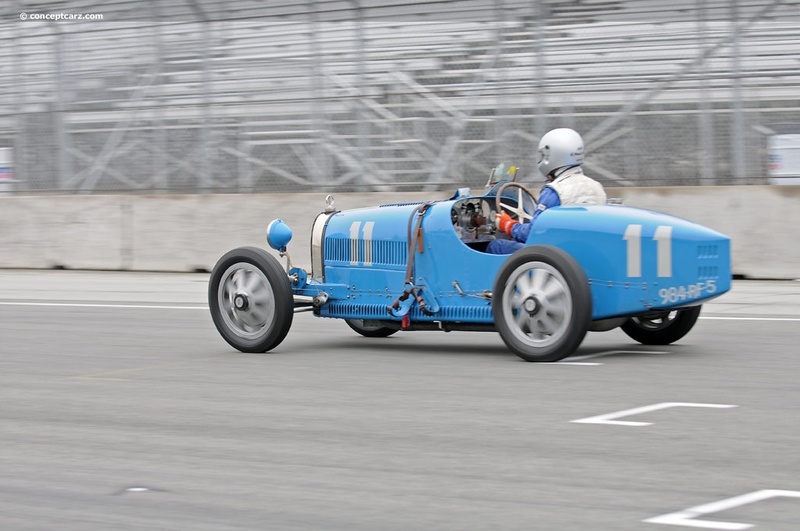 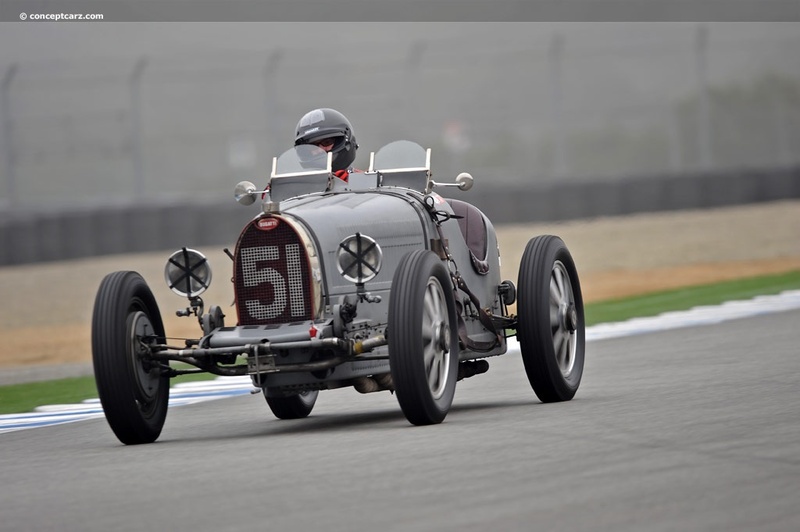 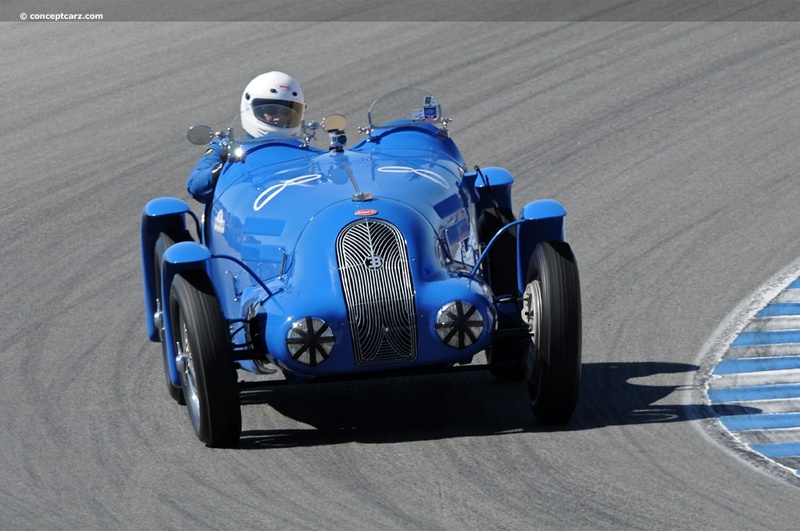 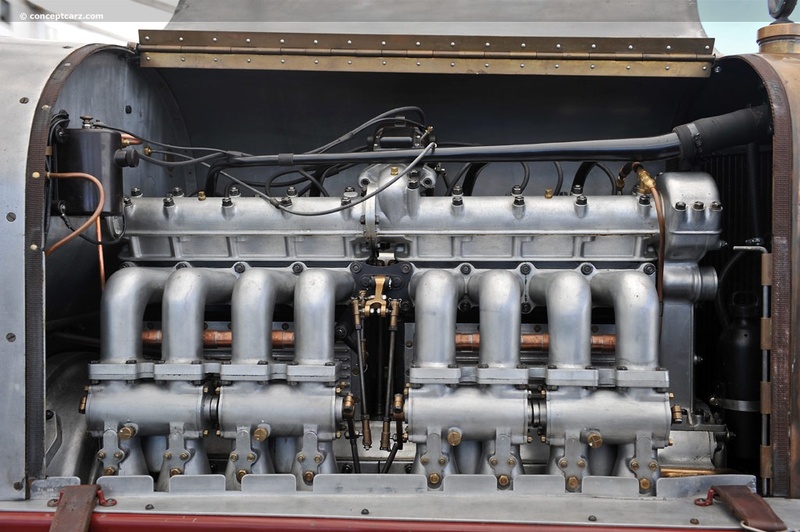 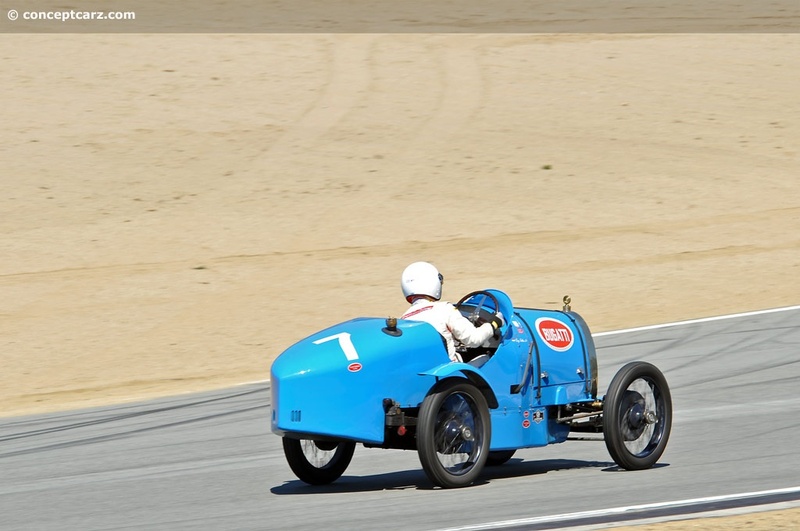 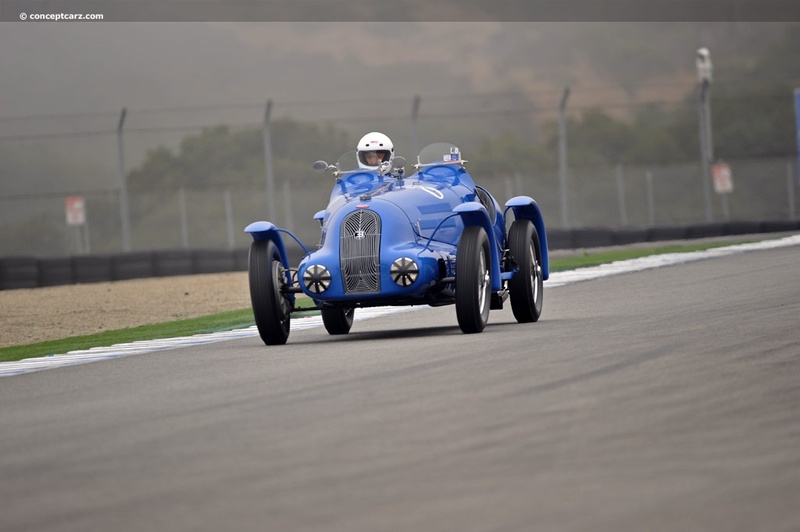 34 Bugatti's participated including several examples of the Type 13, 35, 37 and 51. 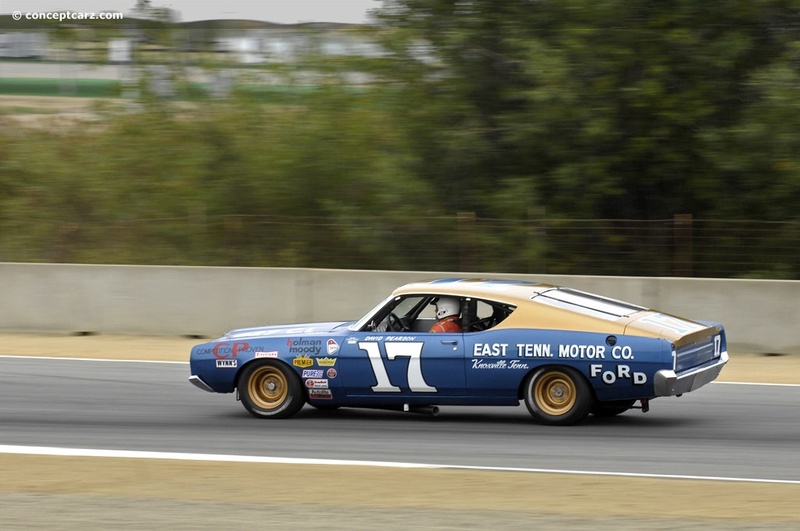 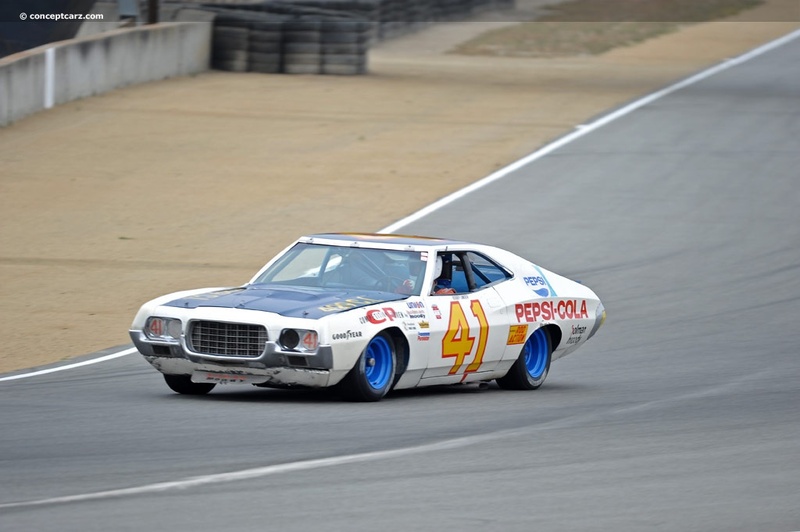 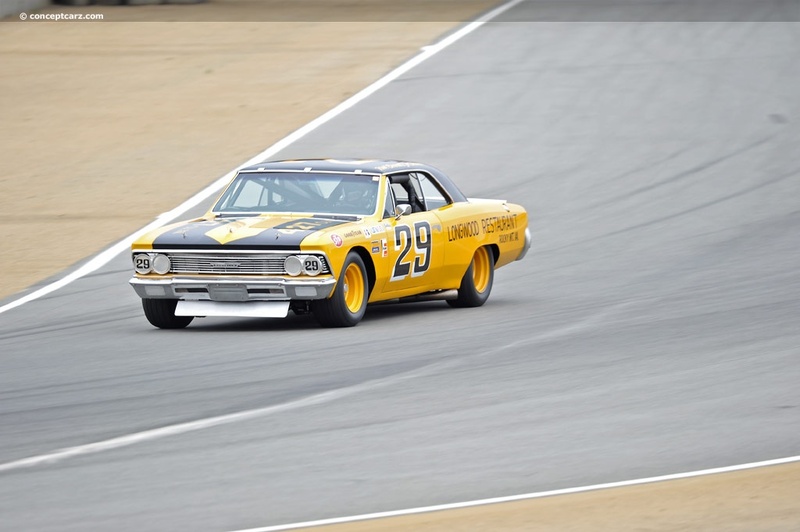 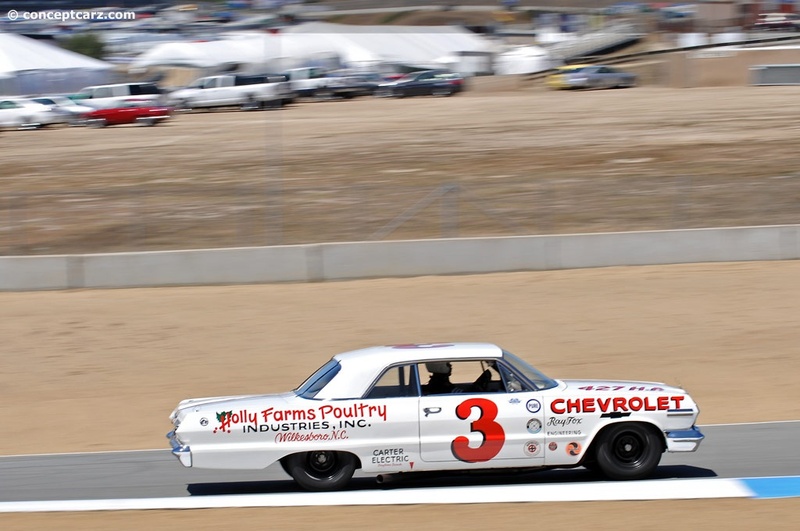 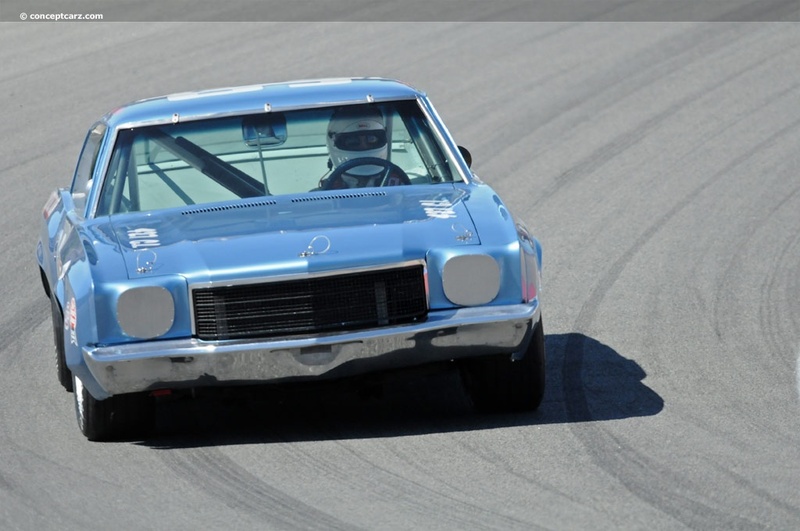 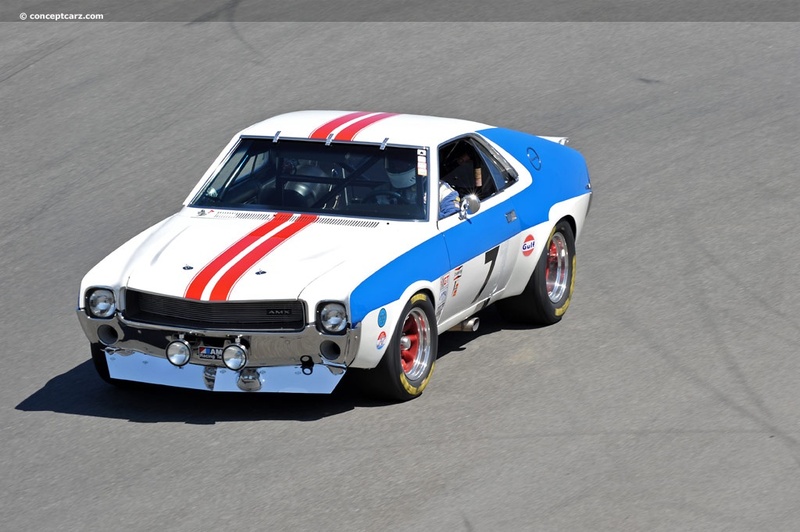 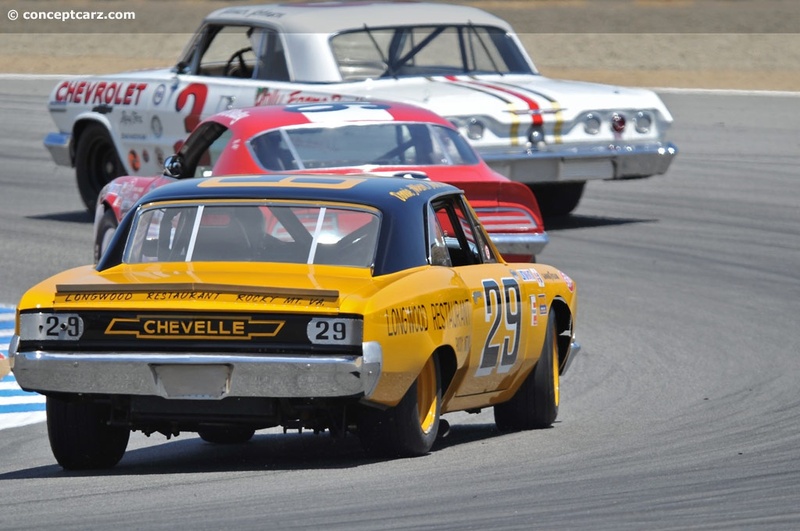 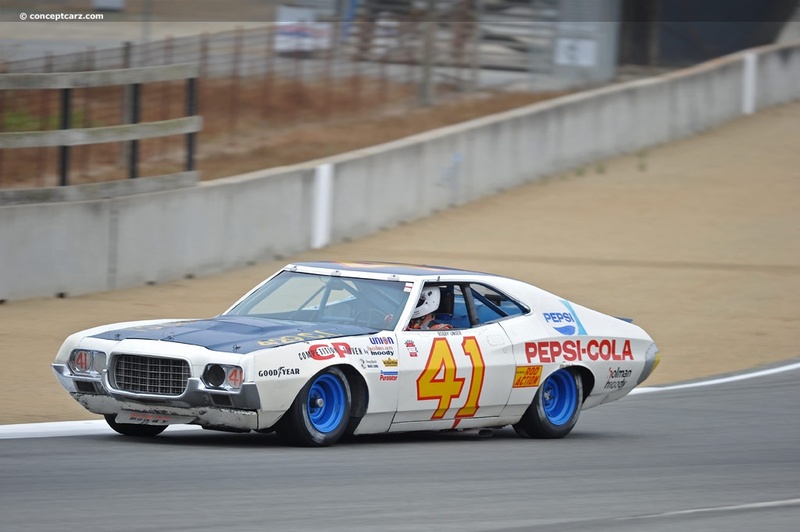 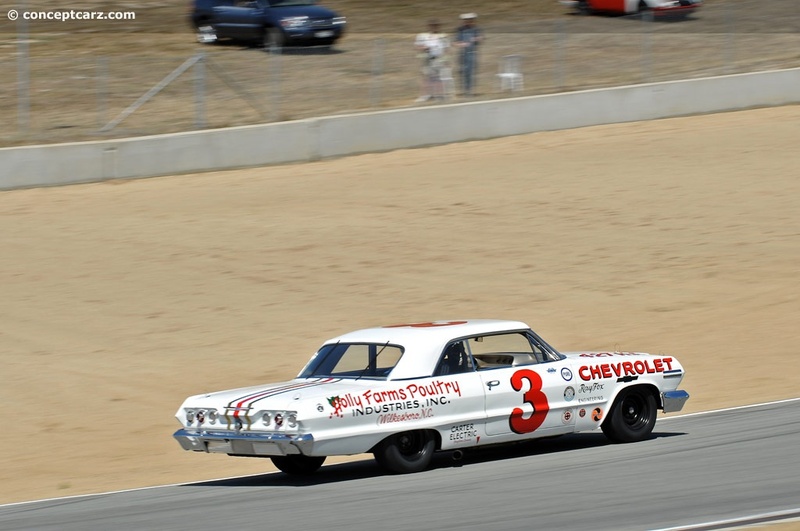 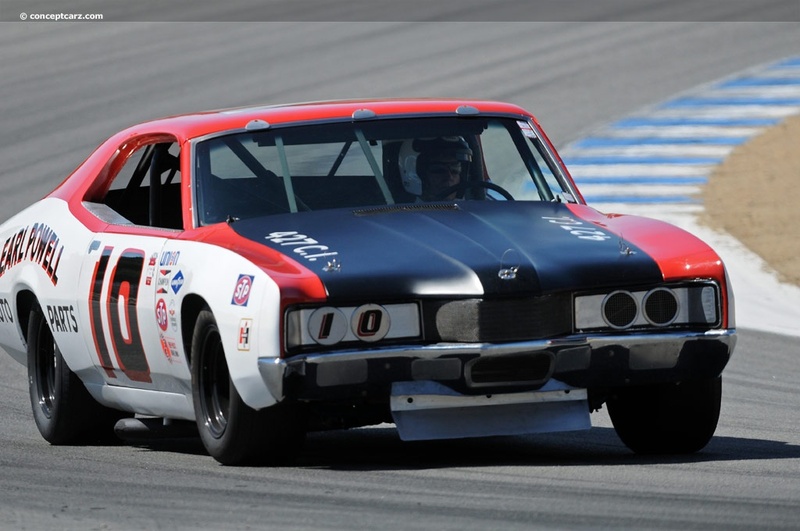 The Historic Stock Car category included cars built in the 1960s and 1970s. 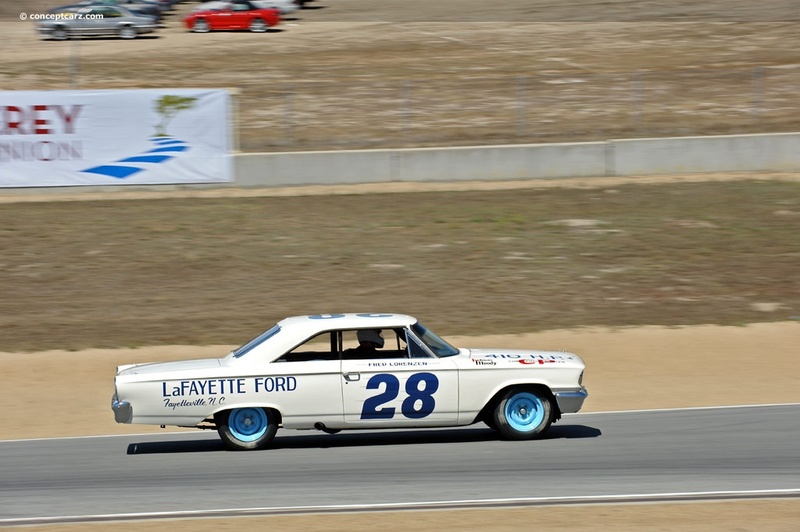 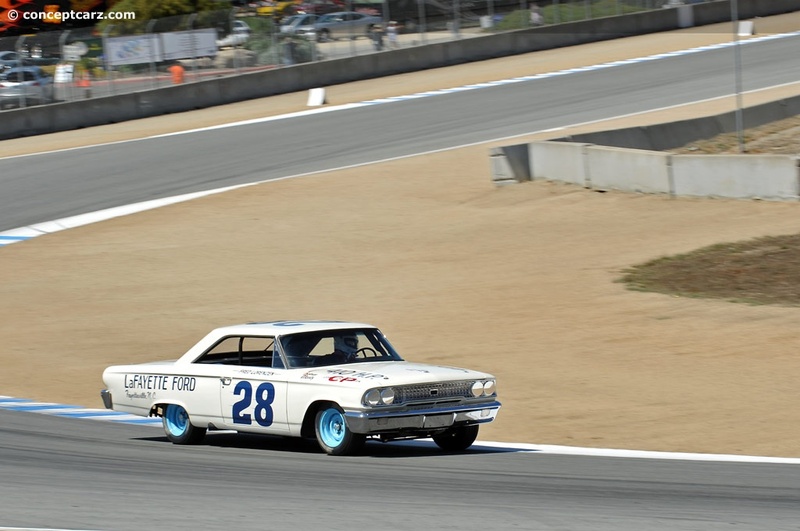 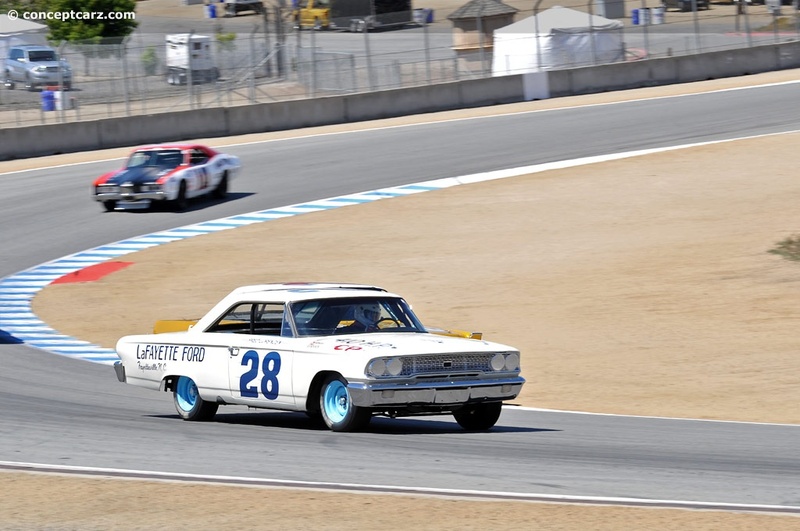 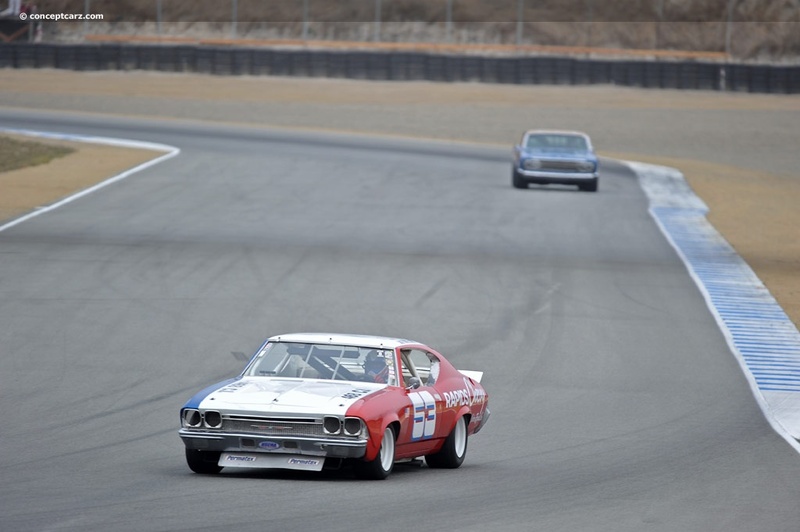 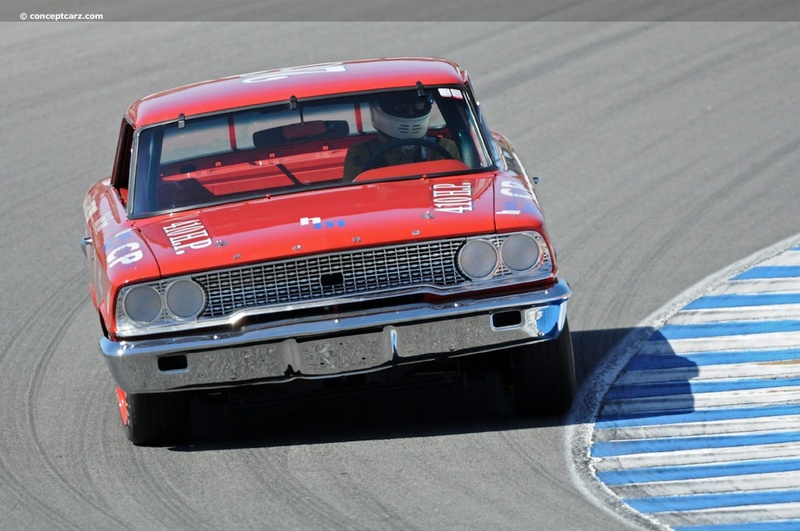 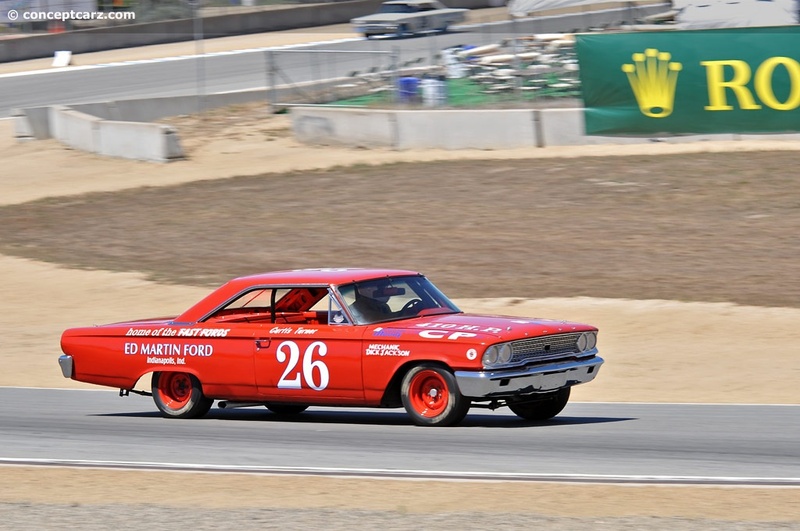 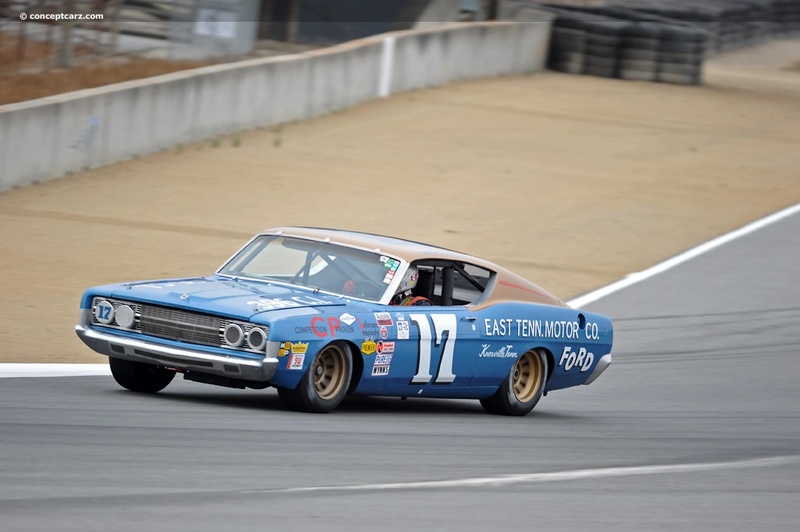 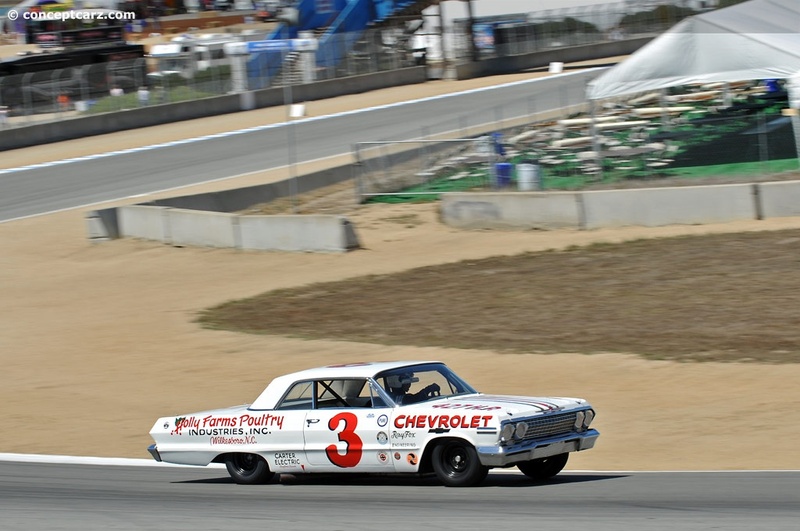 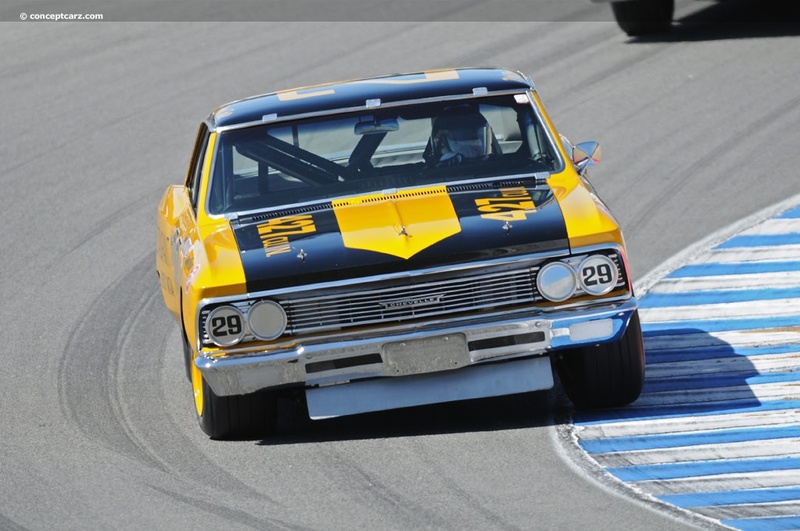 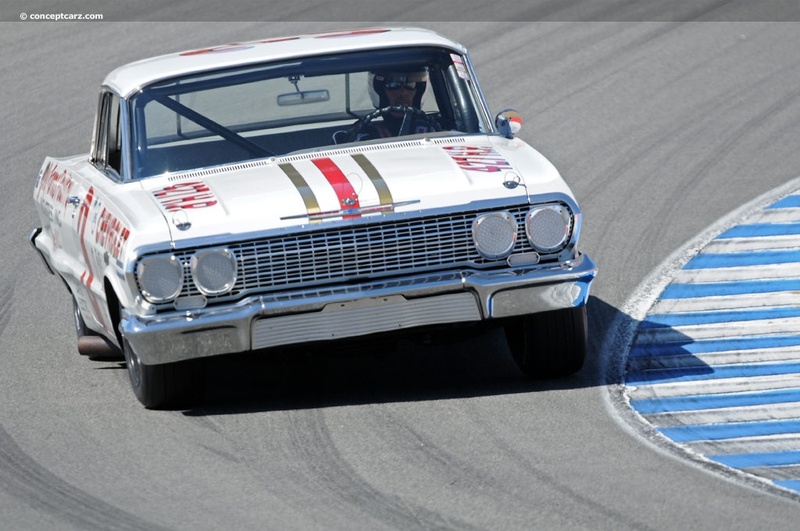 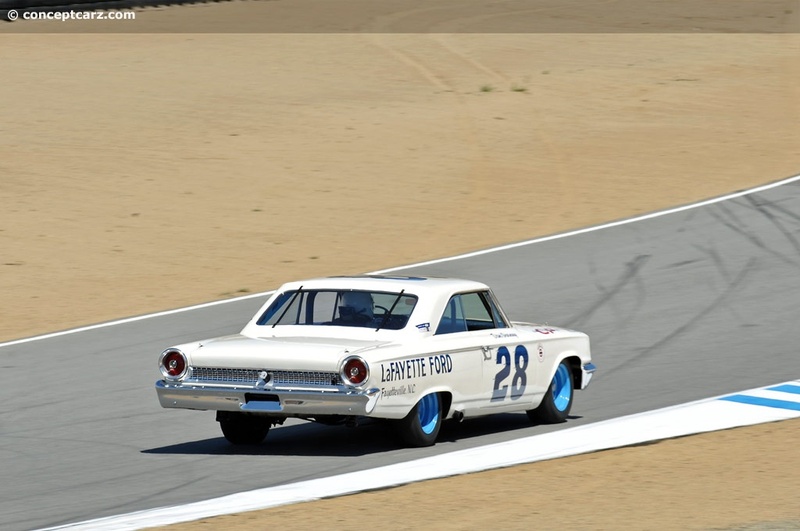 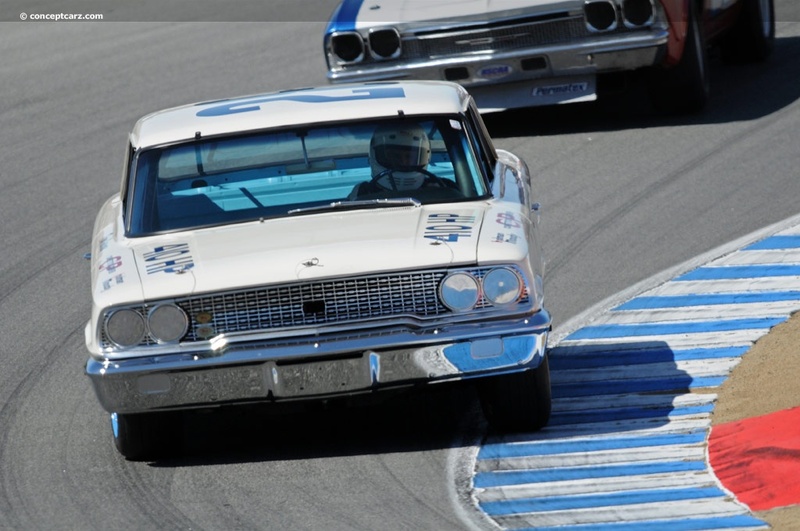 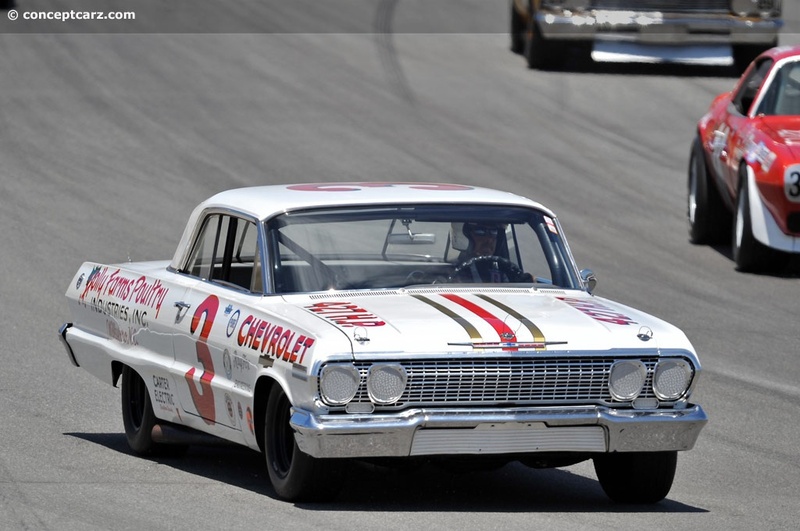 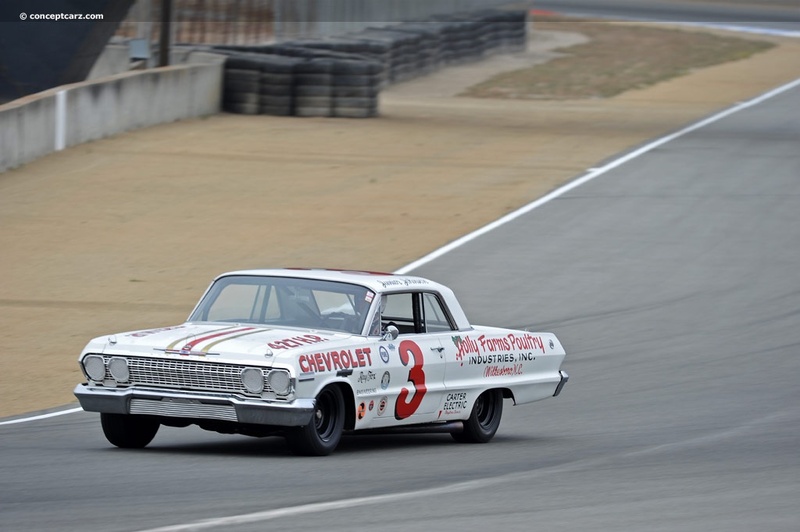 There were two-dozen examples including the Ford Galaxie used by Dan Gurney to win the first ever NASCAR road race at Riverside in 1963. 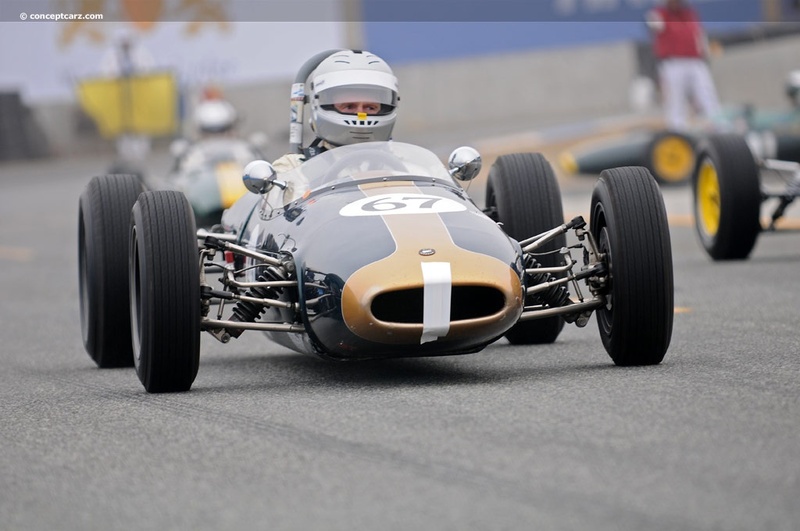 This year's event honored one of the finest and iconic gentlemen in racing, Dan Gurney, and the enormous impact he had on the world of motor racing. 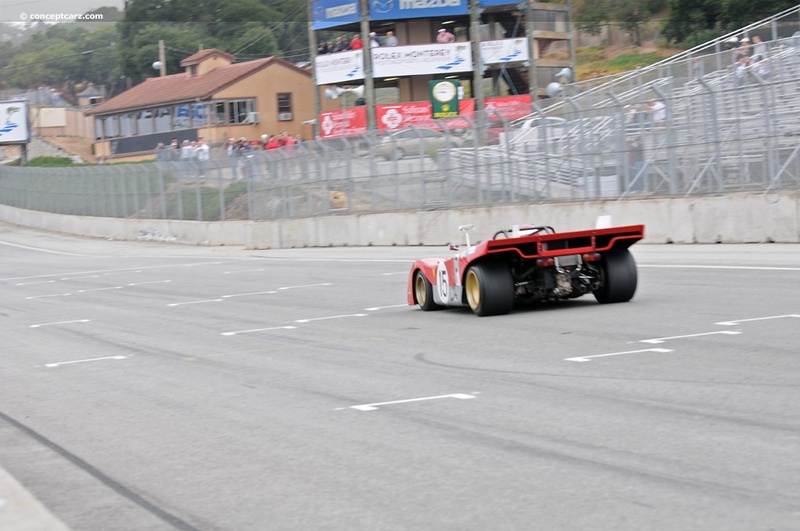 The weekend's activities were dedicated to the Cars He Built and the Cars He Drove. 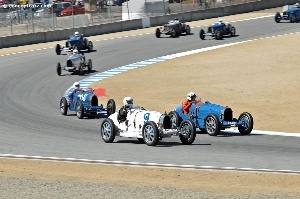 There were over two dozen of the cars Gurney fielded and/or drove on display. 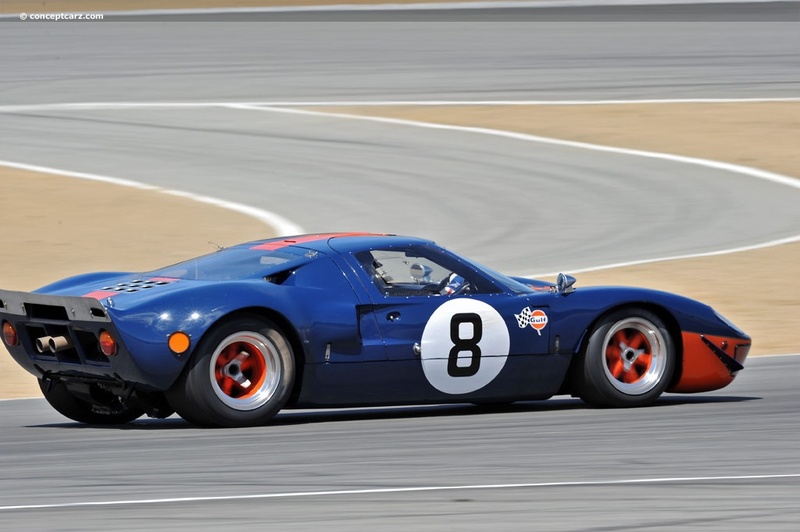 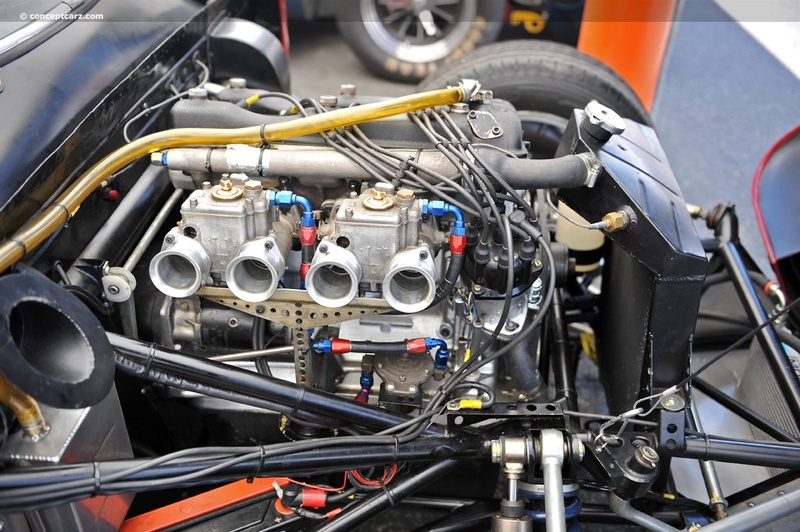 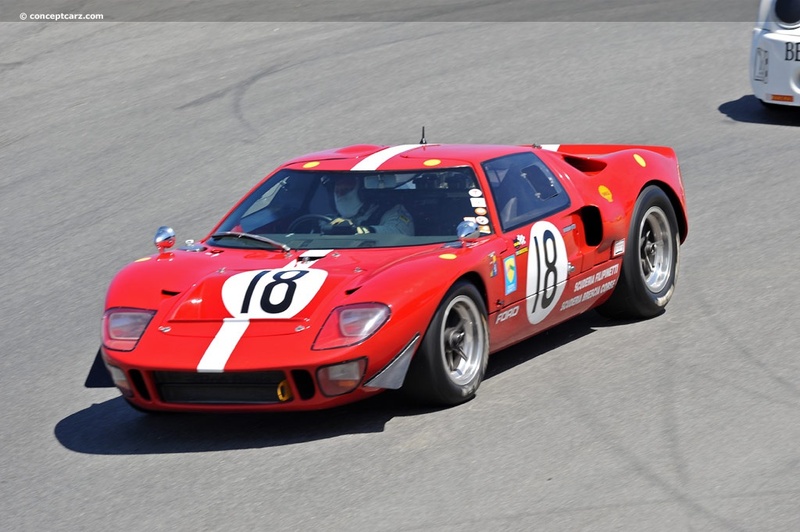 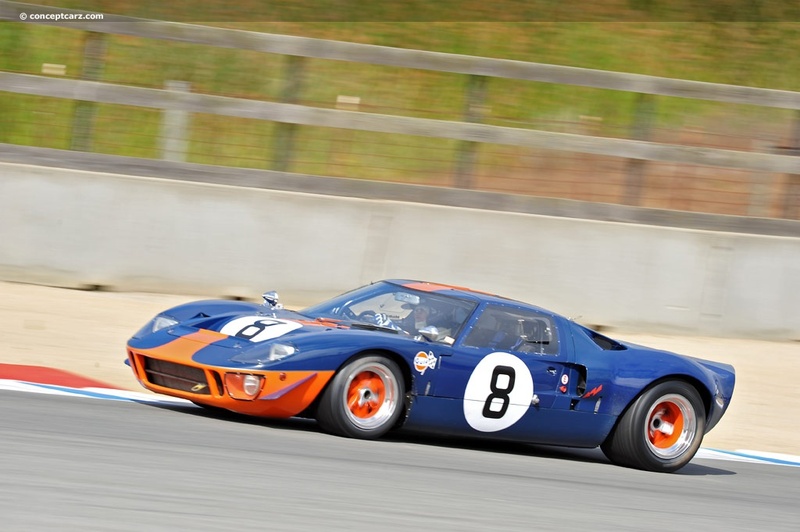 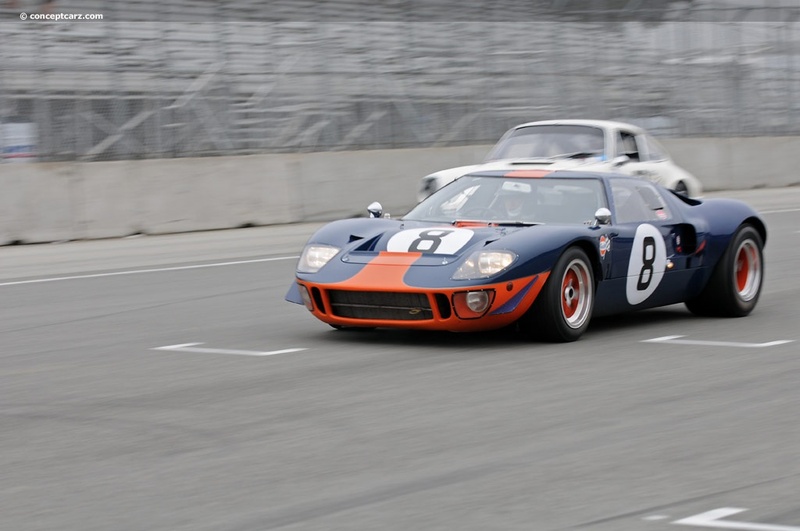 Examples include the Ford GT MK IV, currently housed at The Henry Ford museum, in which he won LeMans in 1967; the Lotus 19 which won the 1962 Daytona 3 Hours race, and three of the four Formula 1 Eagles, including the car that won at Spa. 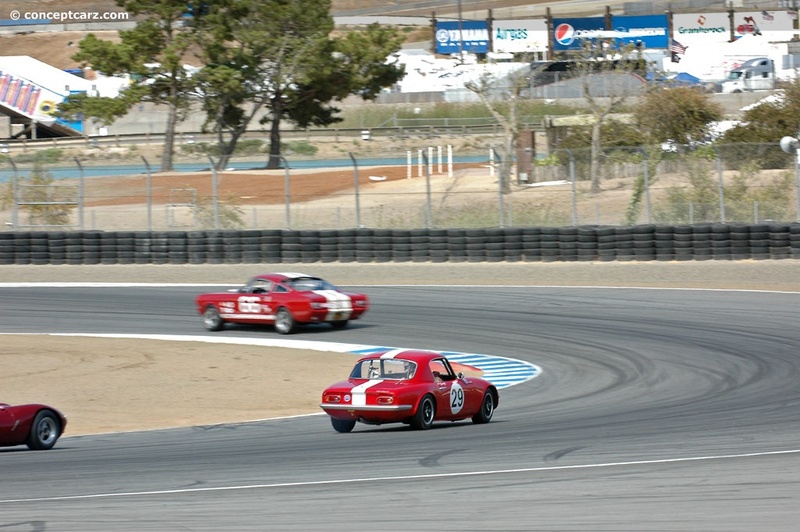 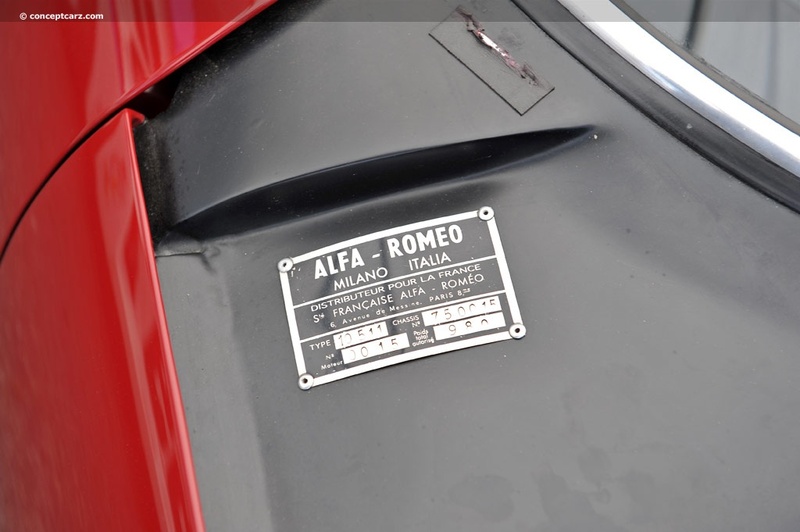 Also present was the record breaking Ferrari Daytona used by Gurney and Brock Yates in the 1971 Cannonball Baker Sea-to-Shining-Sea Memorial Trophy Dash (better known as 'Cannonball Run'). 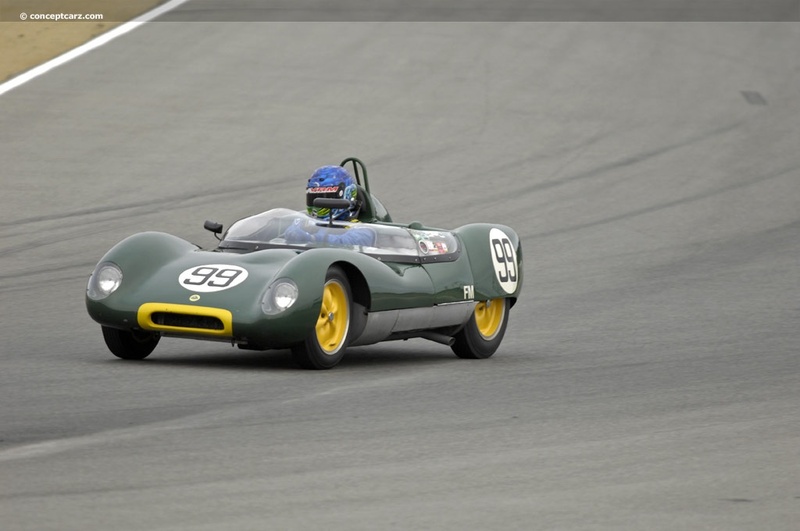 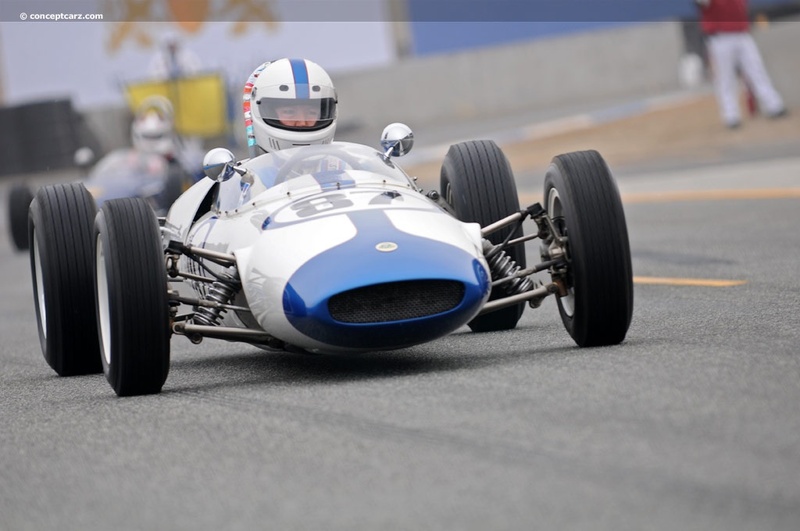 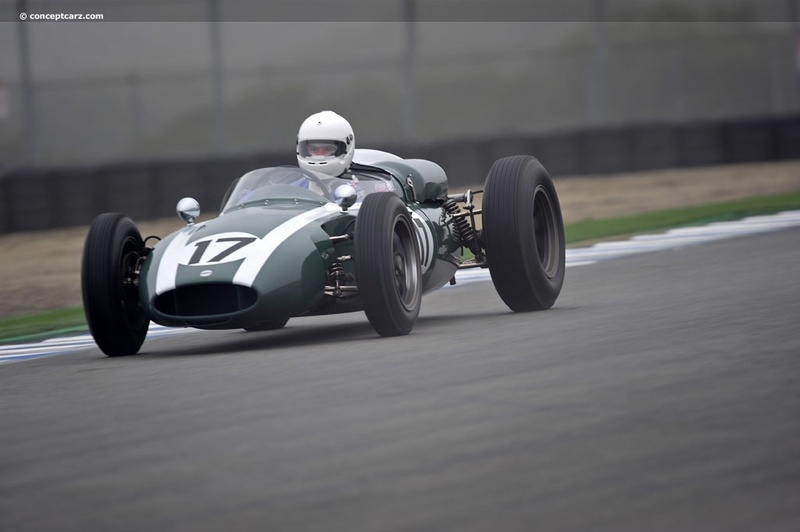 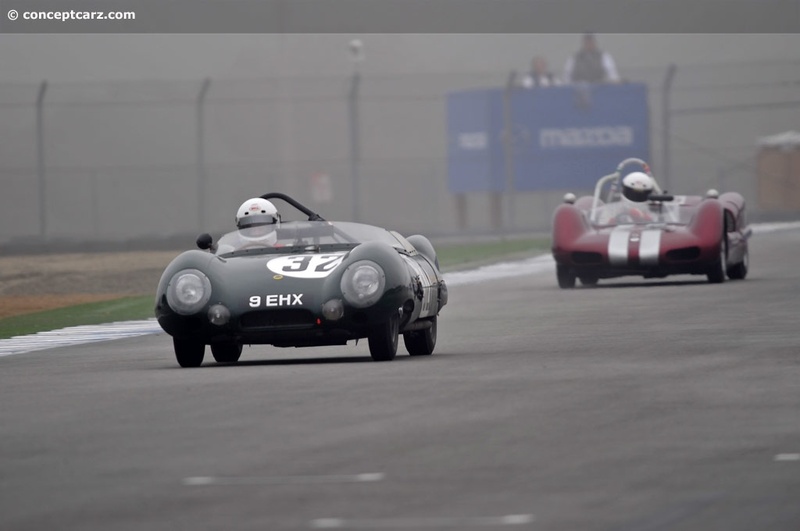 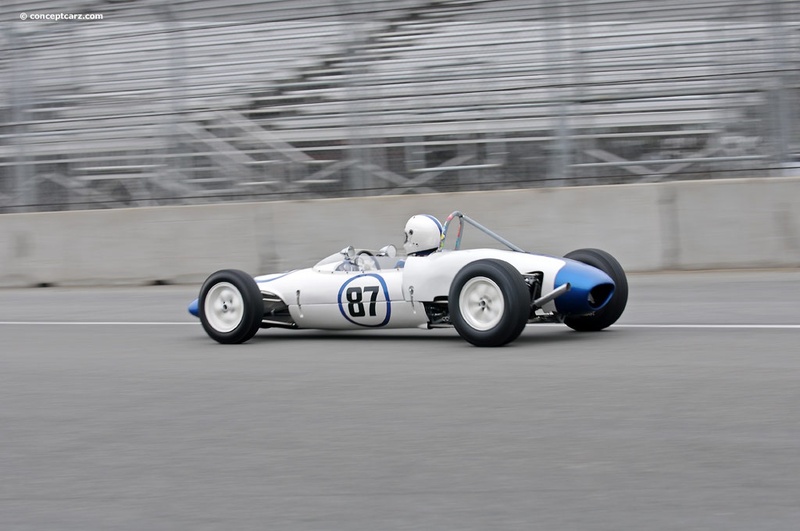 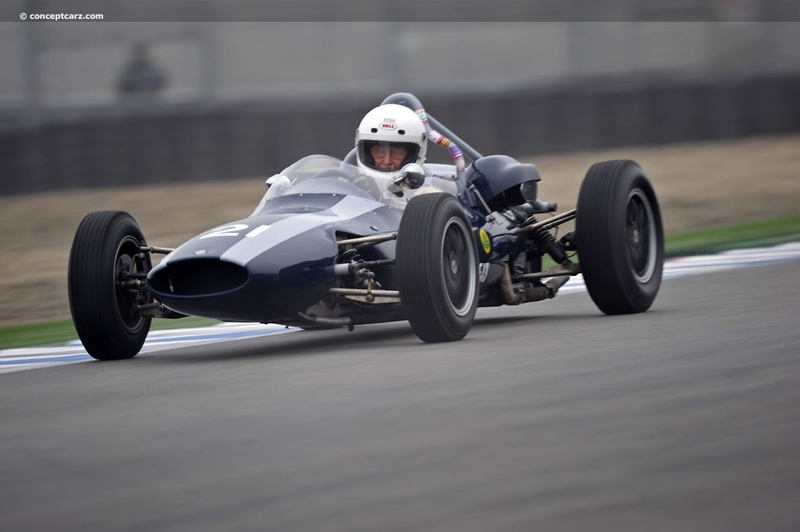 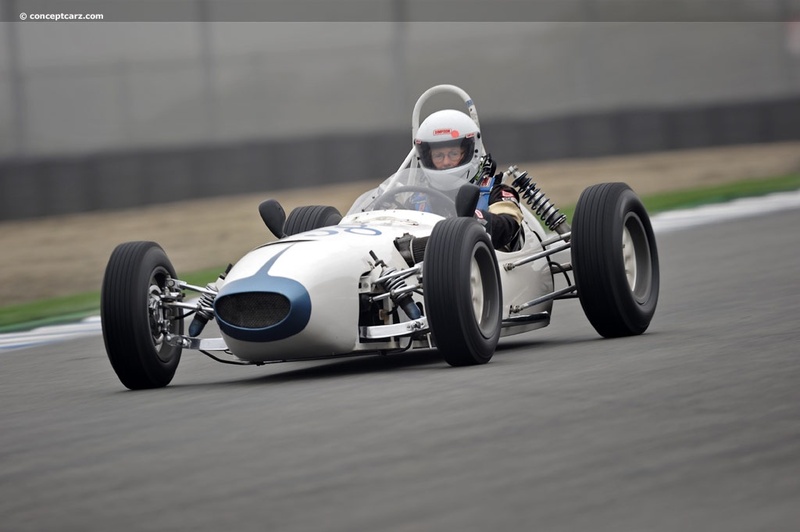 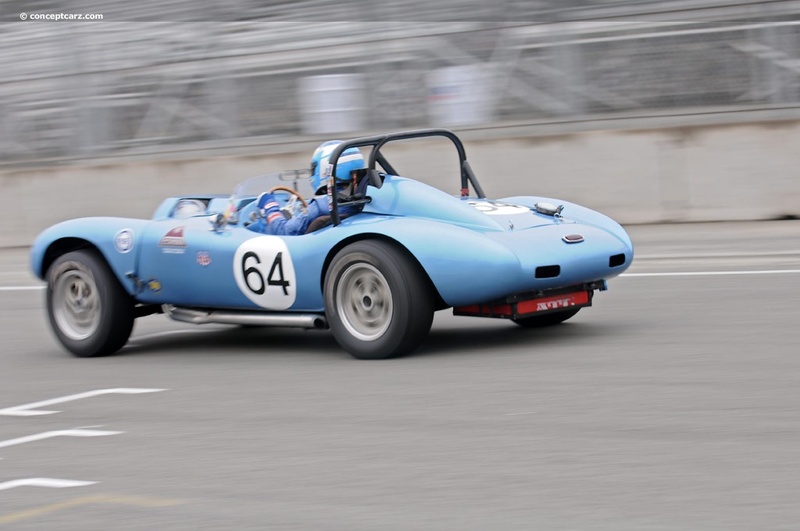 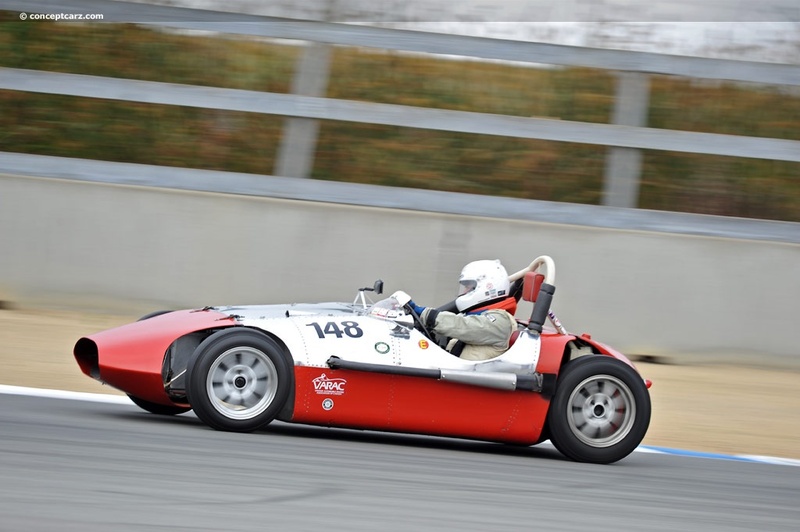 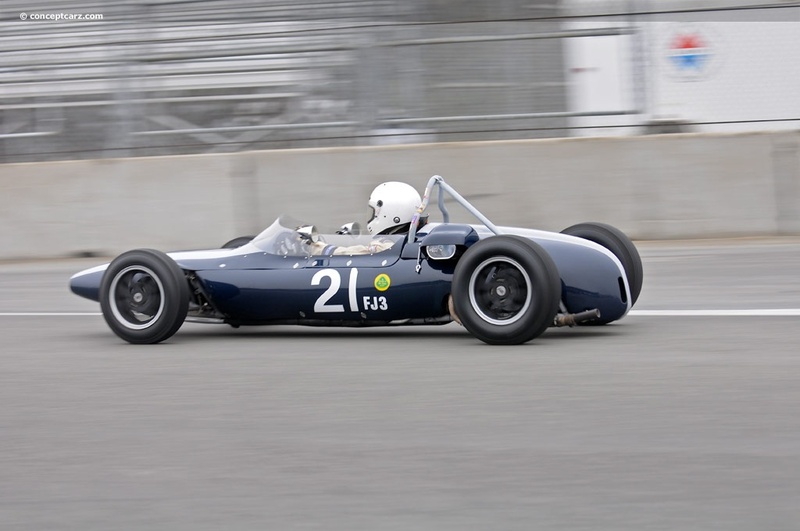 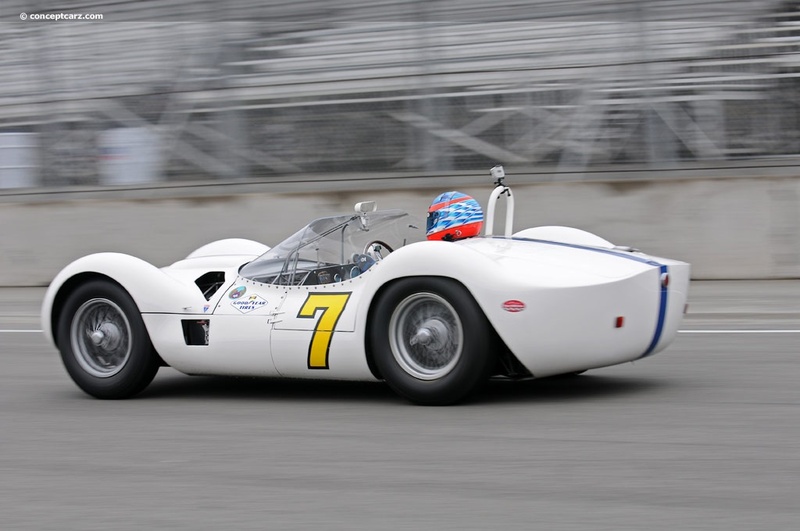 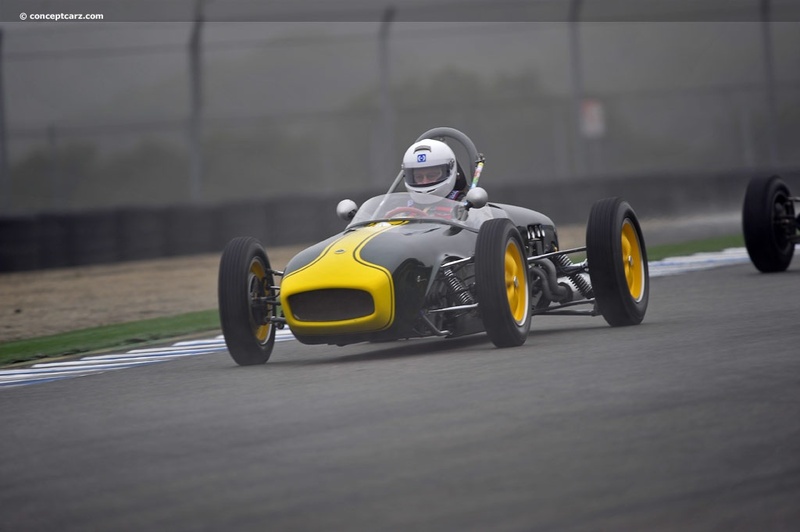 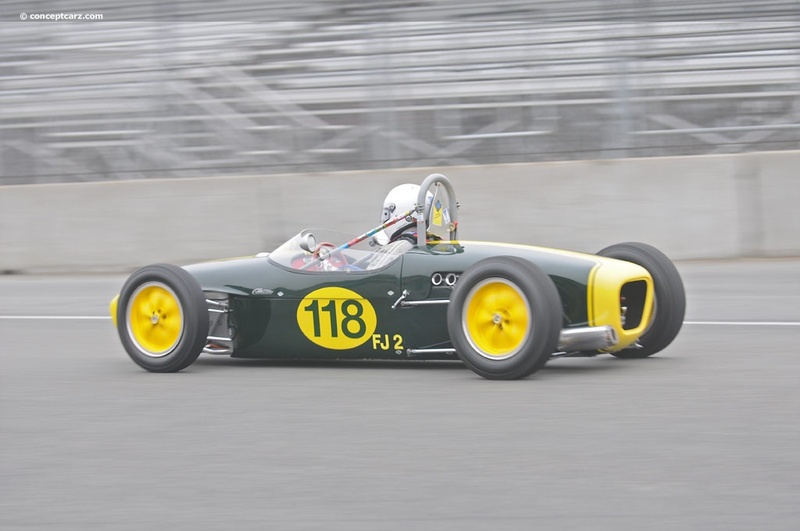 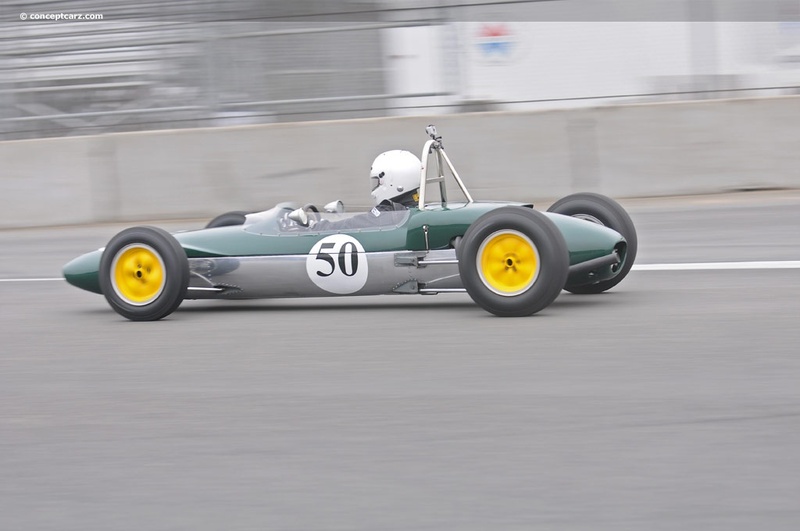 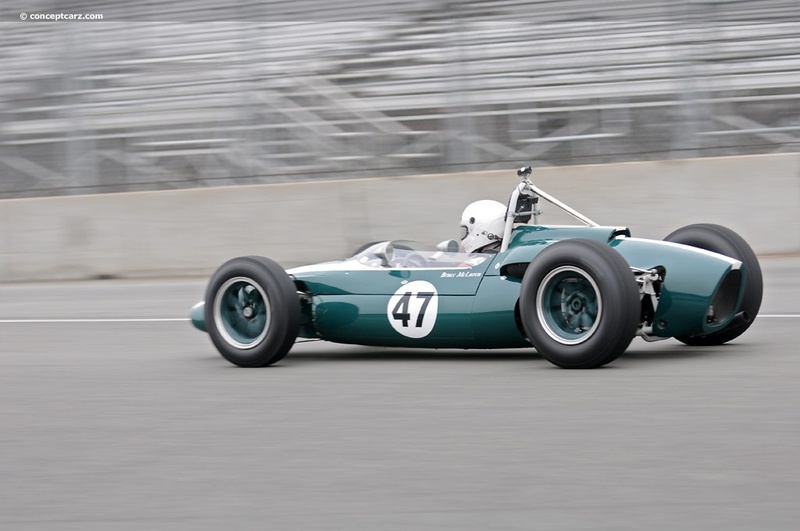 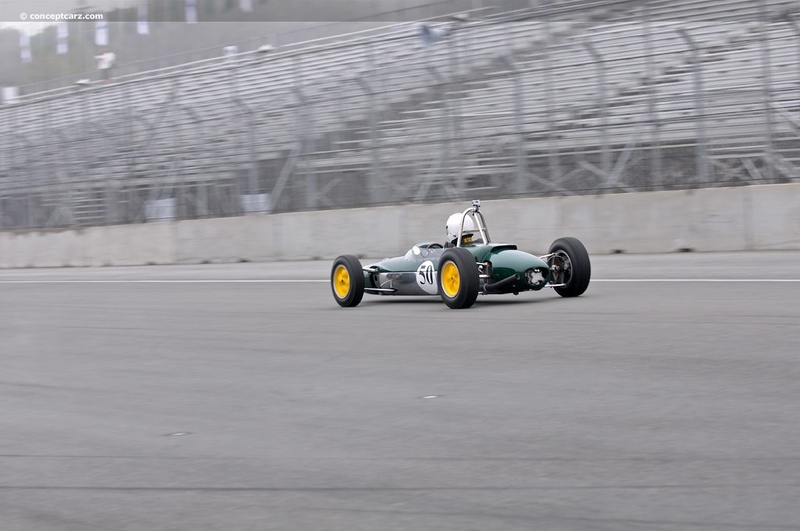 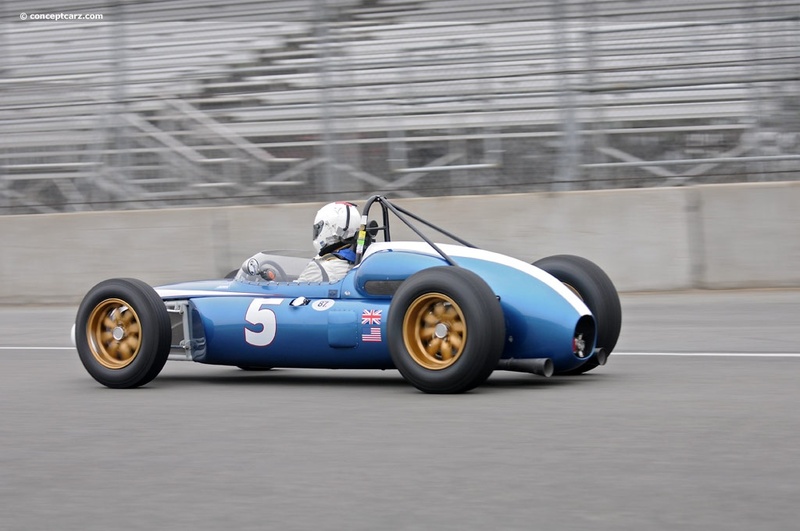 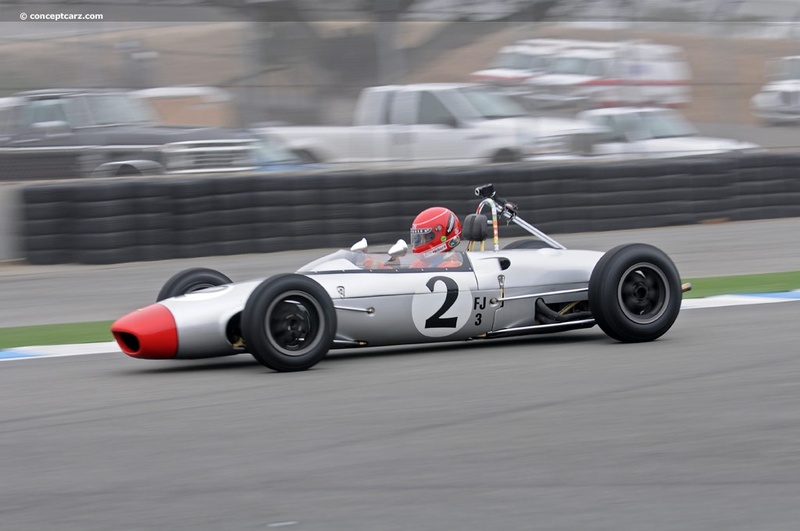 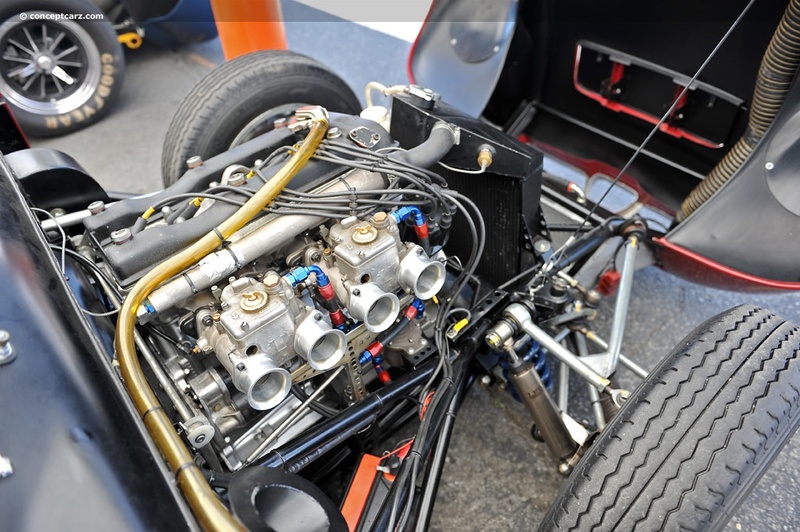 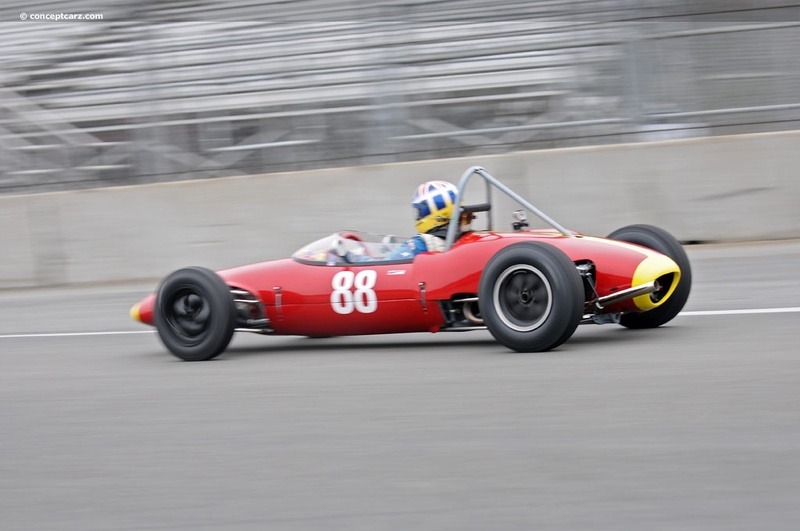 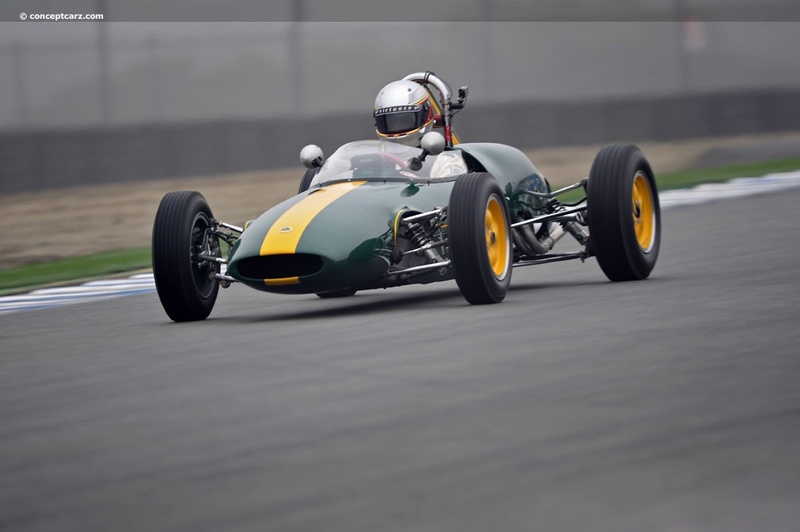 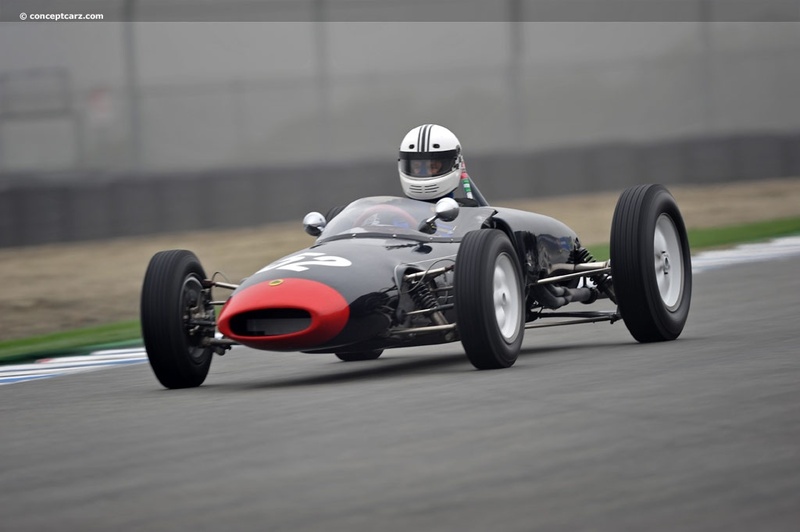 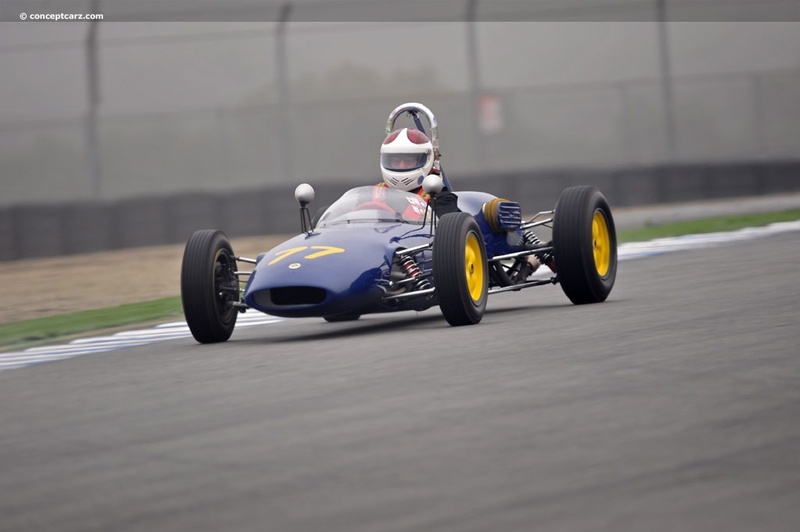 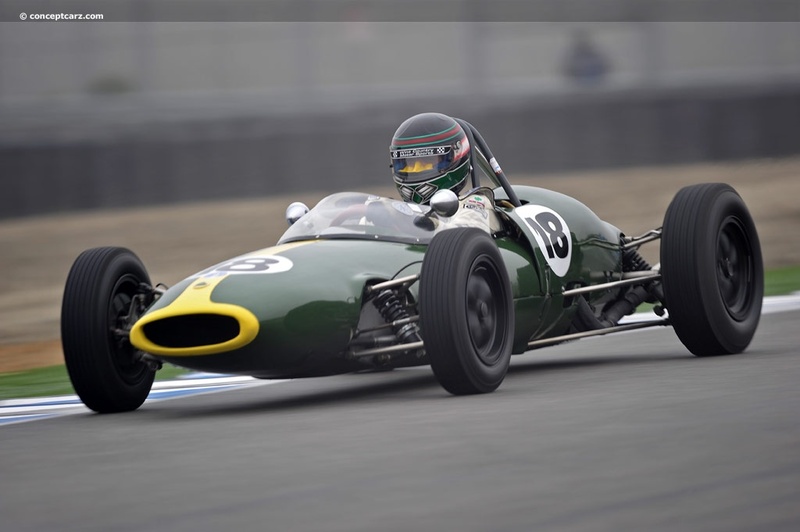 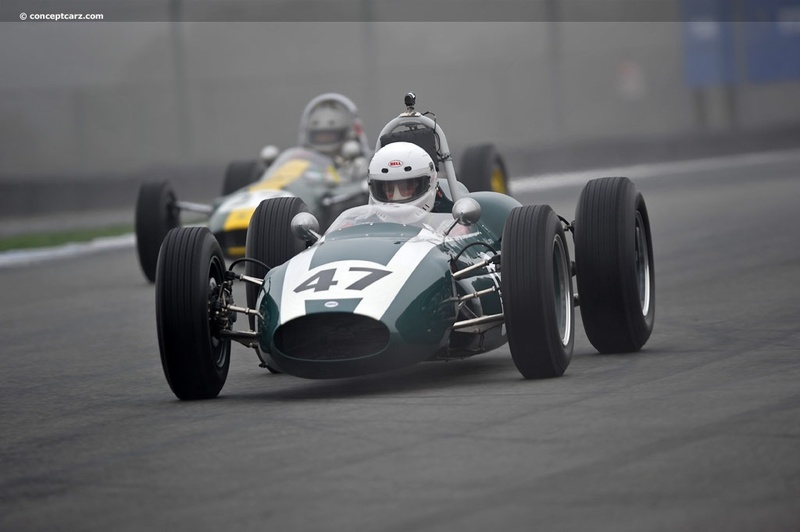 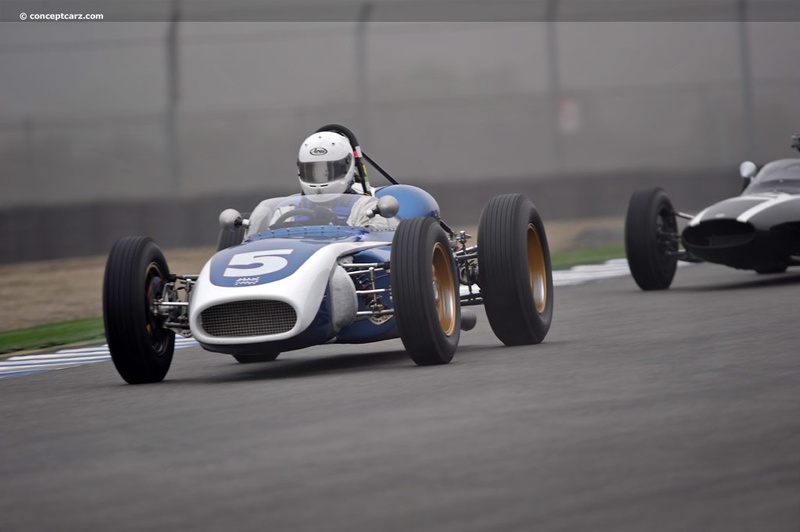 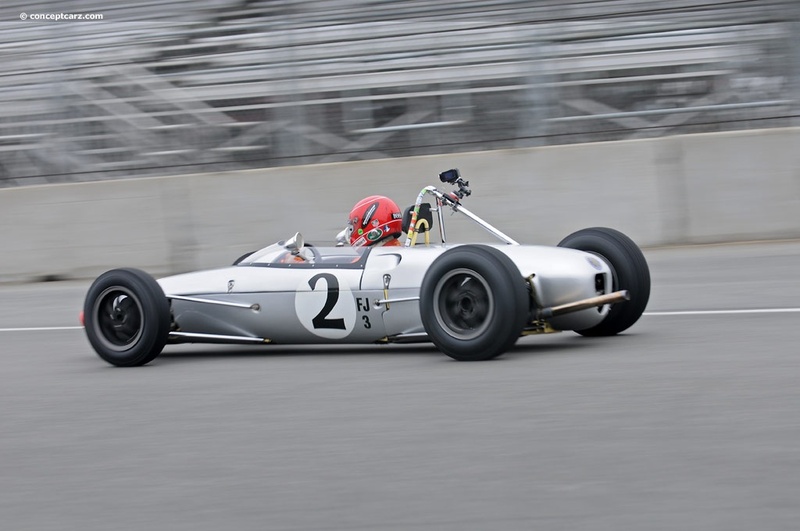 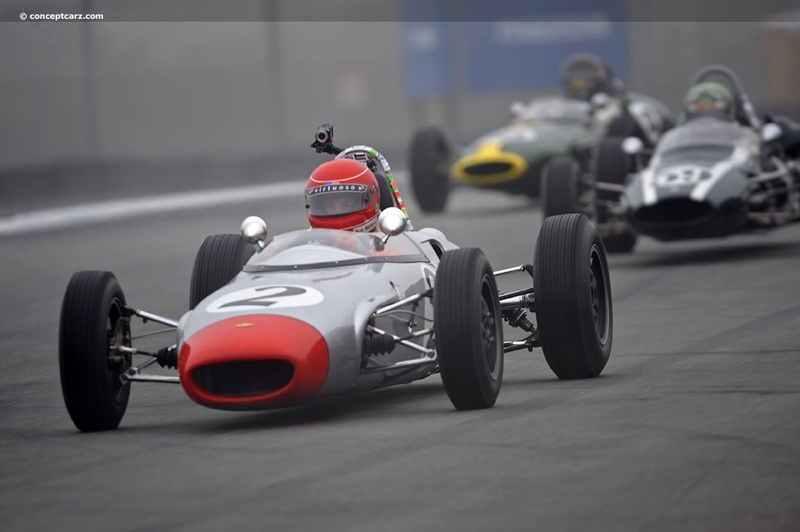 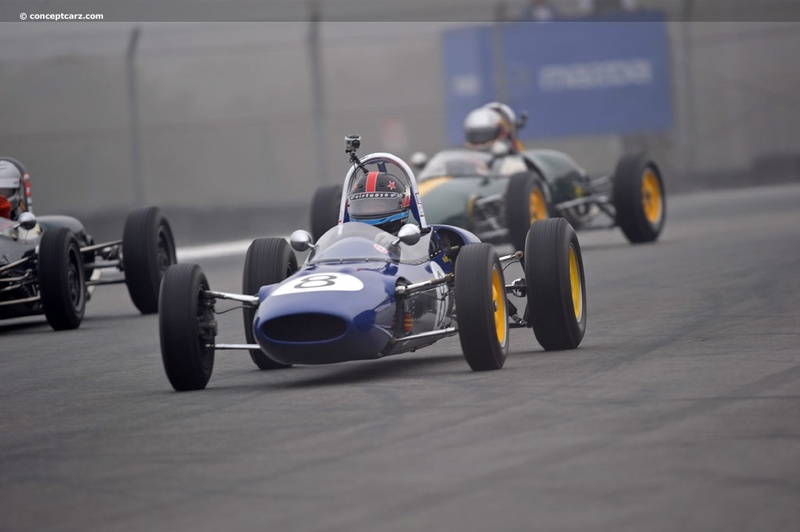 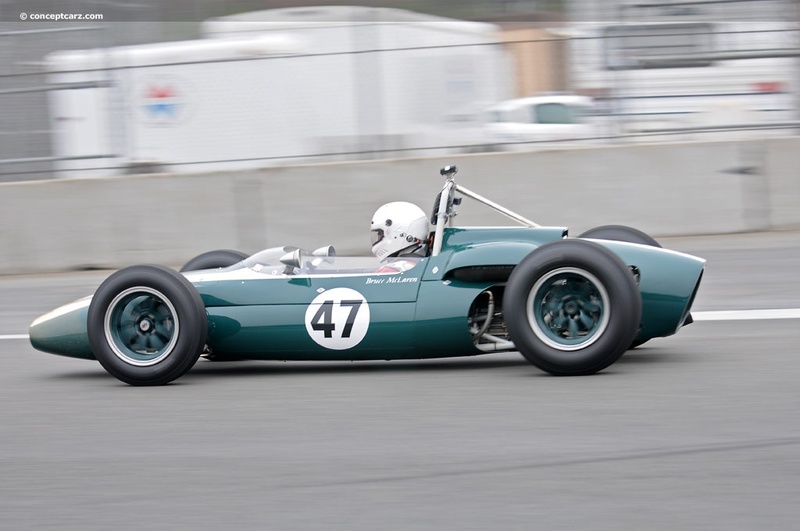 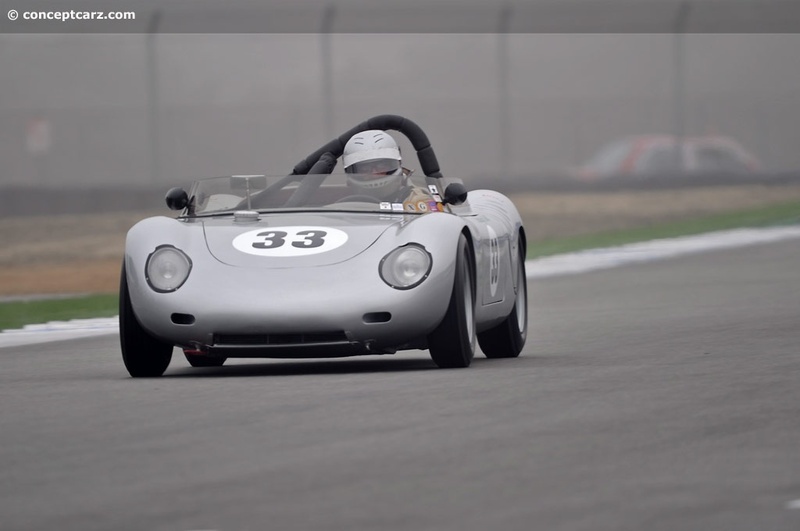 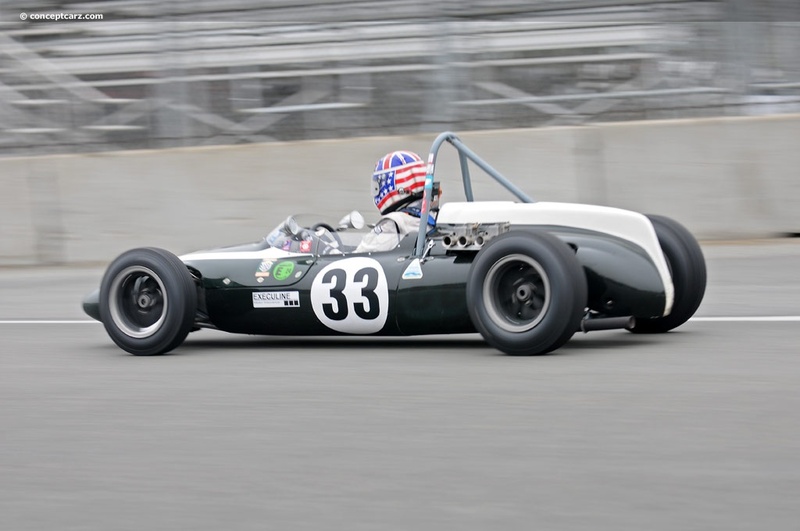 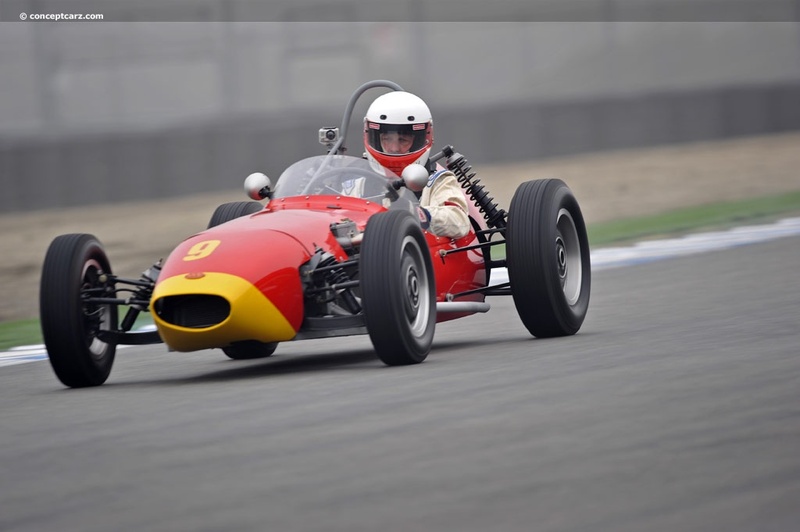 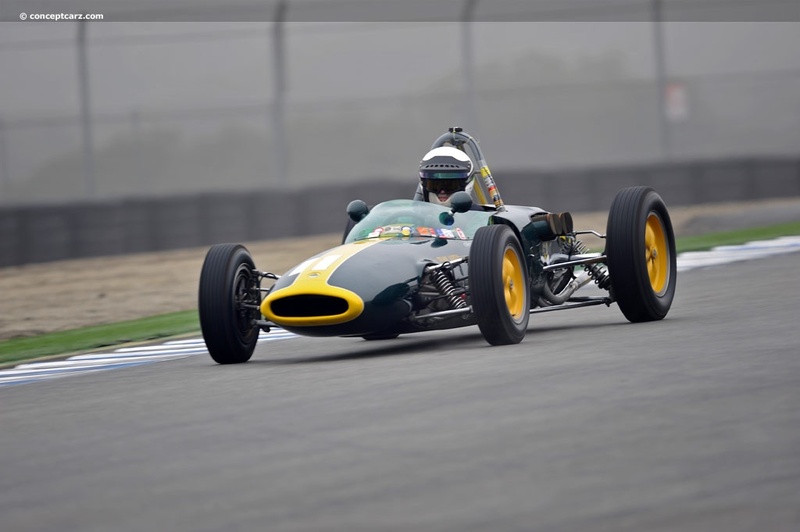 The Gurney cars present gave insight into Gurney's career as a driver, a car manufacturer, and a team owner. 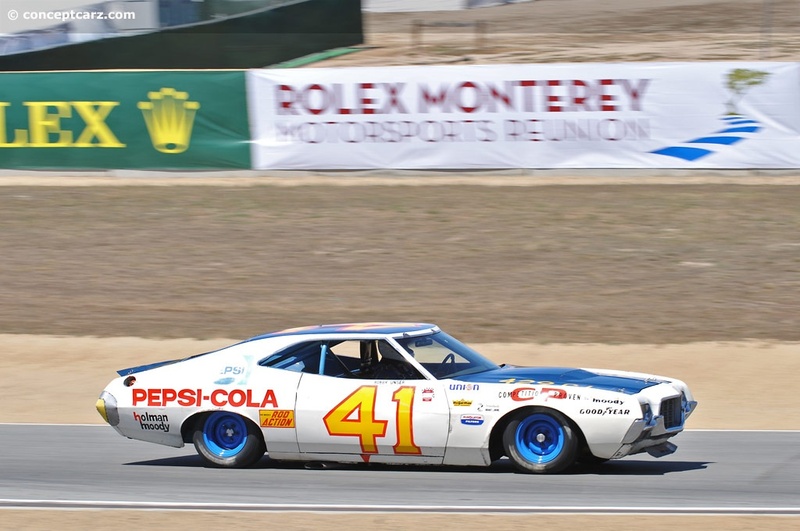 He was involved in Indy Car, NASCAR, Can-Am, Formula One, and the Trans-Am Series. 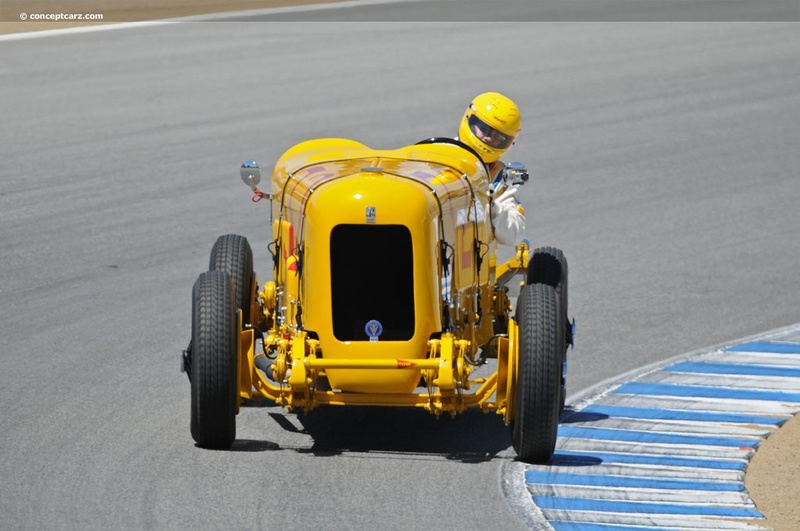 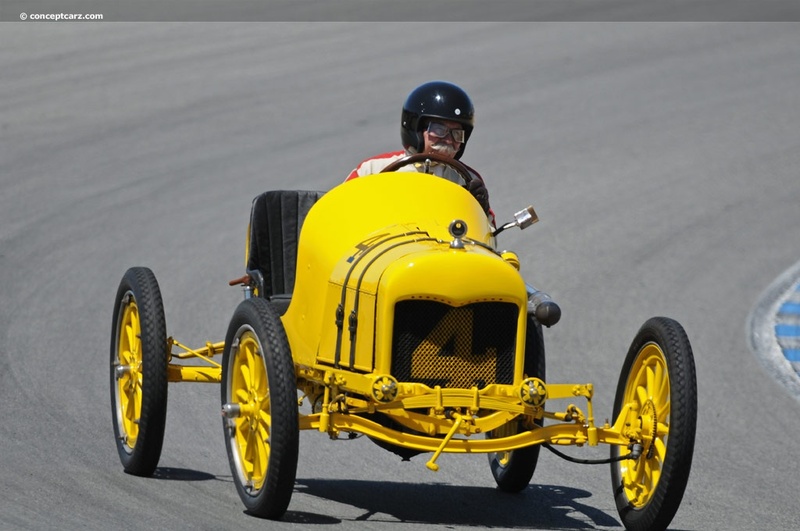 He was the first driver to win races in Sports Cars, Formula One, NASCAR, and Indy Car. 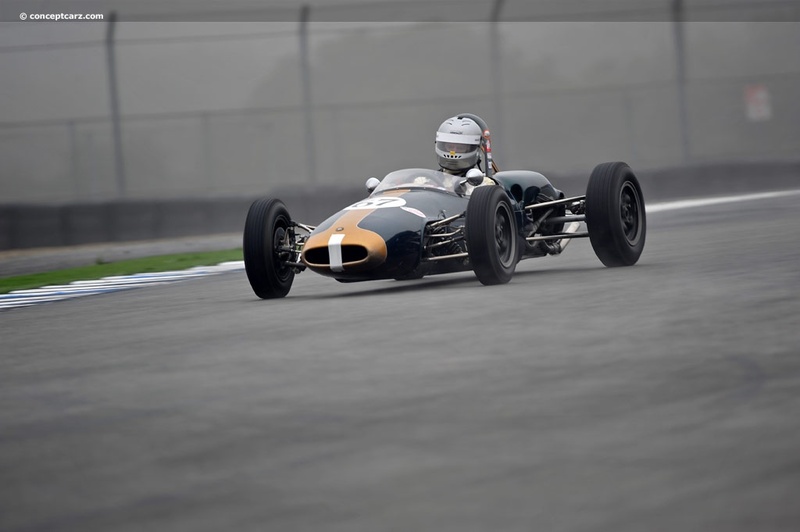 He was the first driver to spray champagne while celebrating on the podium, first to use a full face helmet in Grand Prix racing, and the first to put a simple right-angle extension on the upper trailing edge of the rear wing (now known as the Gurney flap). 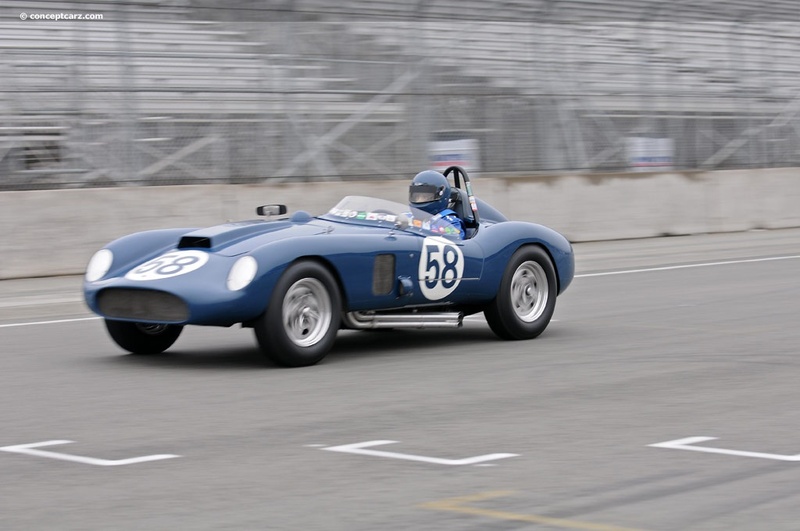 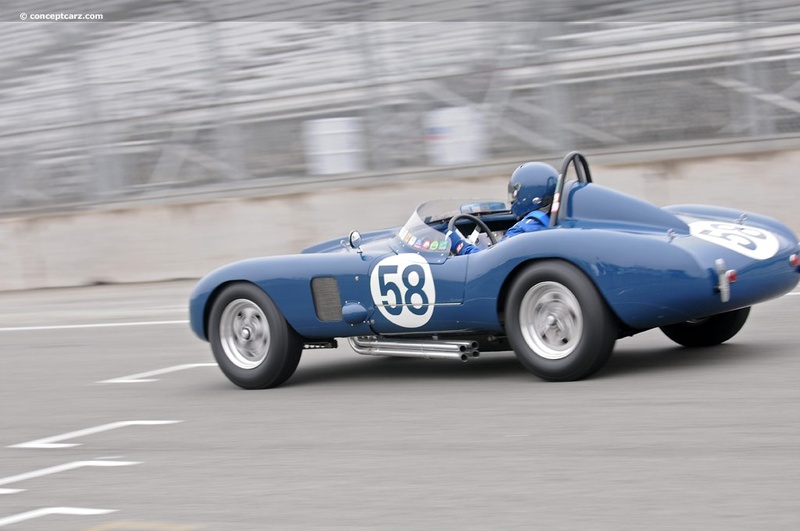 In 1965, Gurney and Carroll Shelby started All American Racers (AAR) and built 'Eagle' cars for Grand Prix and Indianapolis racing. 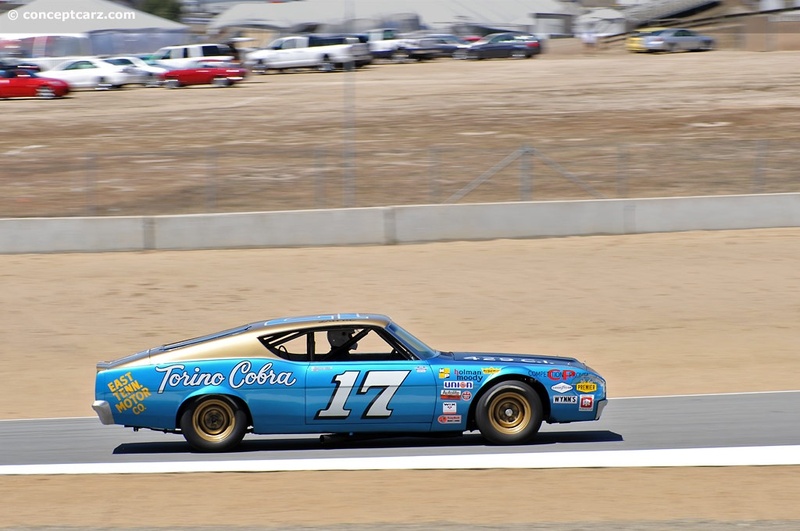 Gurney Eagles had very impressive careers, including victories at Indy in 1973 and 1975. 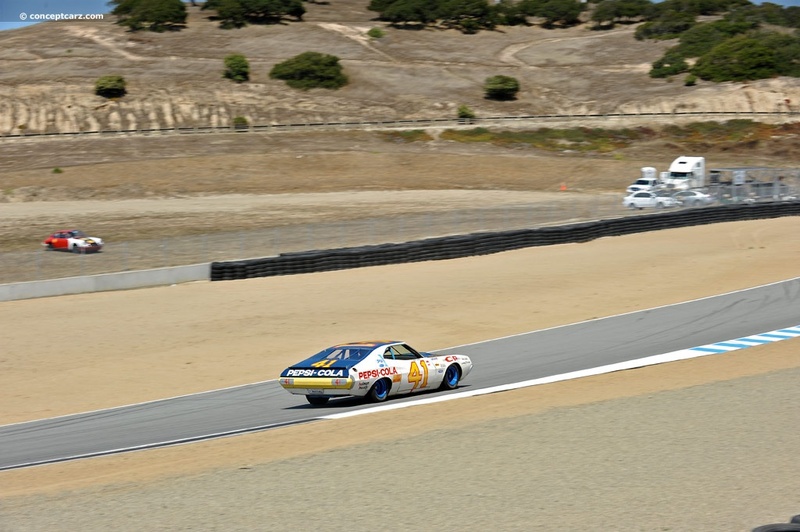 In the 1980s, AAR switched from single seat racing to focus on a new partnership with Toyota. 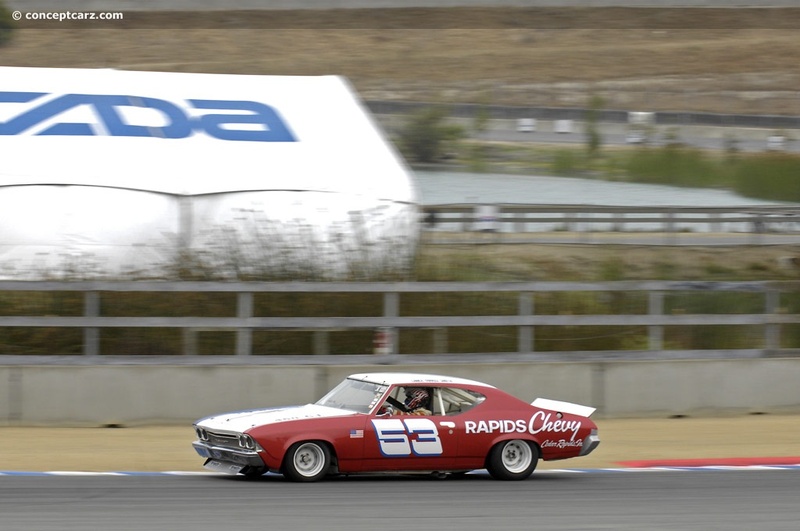 The fruits of this union included modified Celicas which competed in International Motor Sports Association road race events. 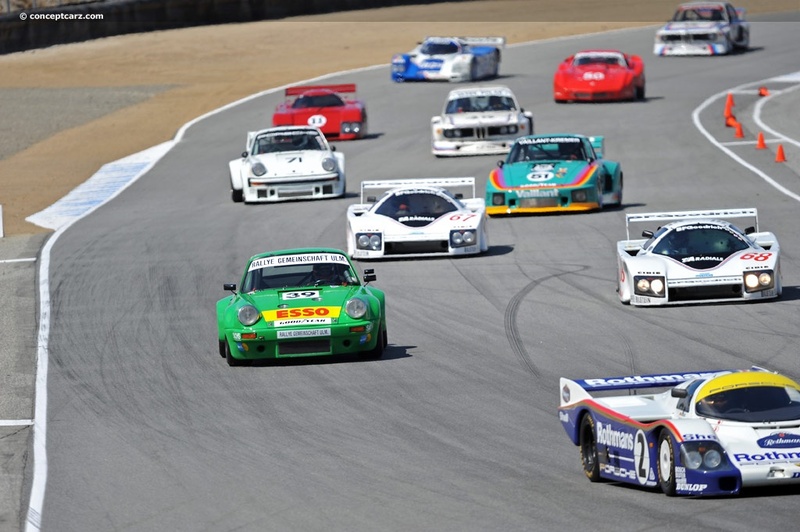 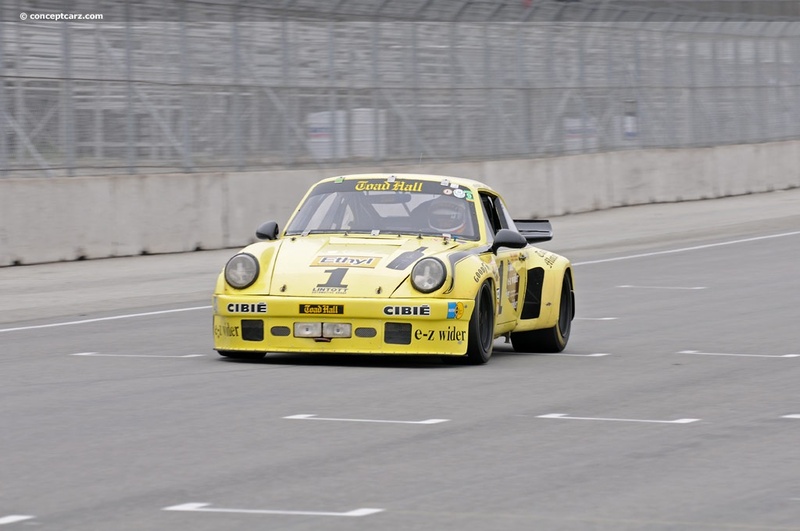 The cars won ten events in the GTU class from 1983-85. 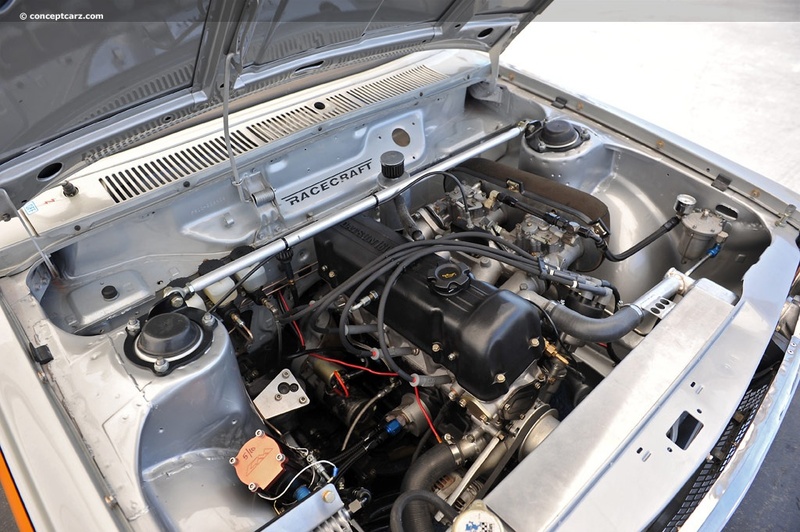 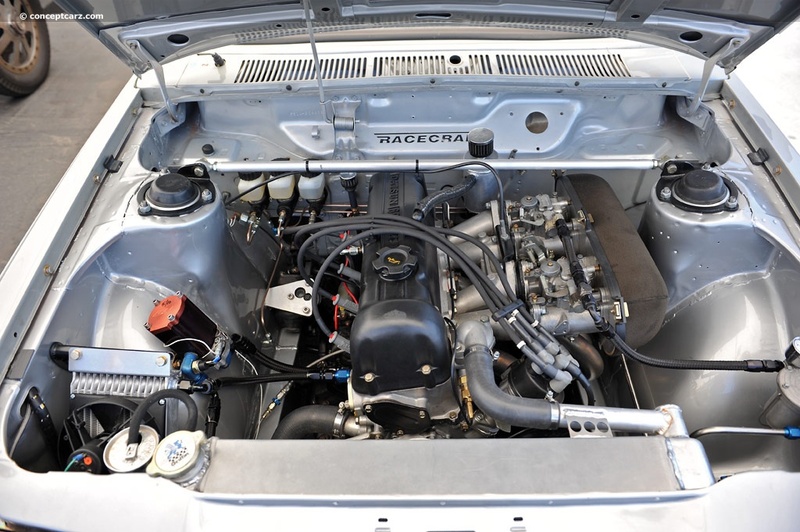 The following year, new Celica GTS's were prepared for the GTO class and captured 15 wins from 1986-88. 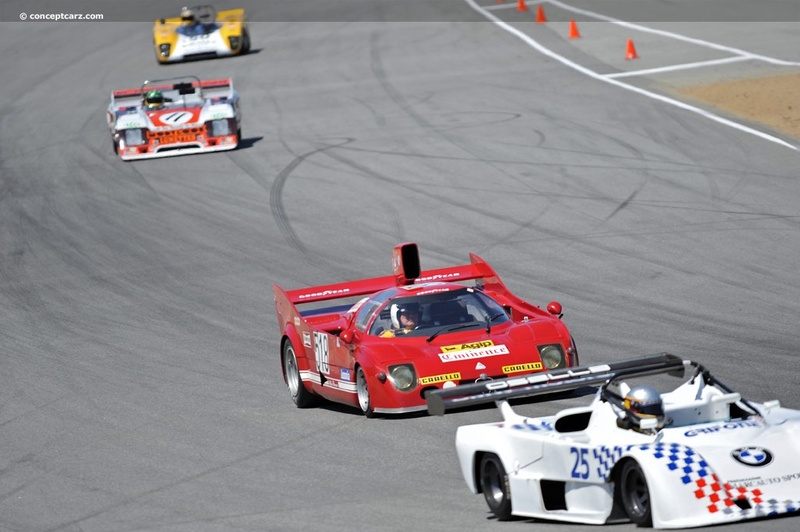 In 1987, the Toyotas won the Driver's and Manufacturer's championship in IMSA. 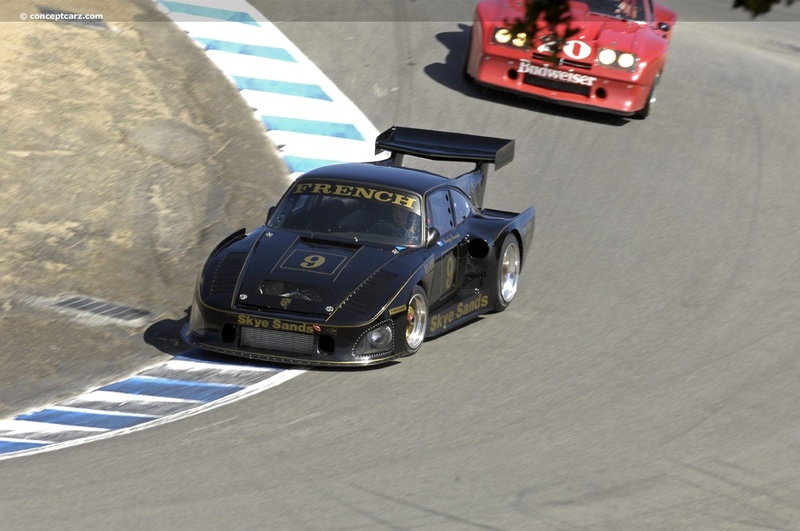 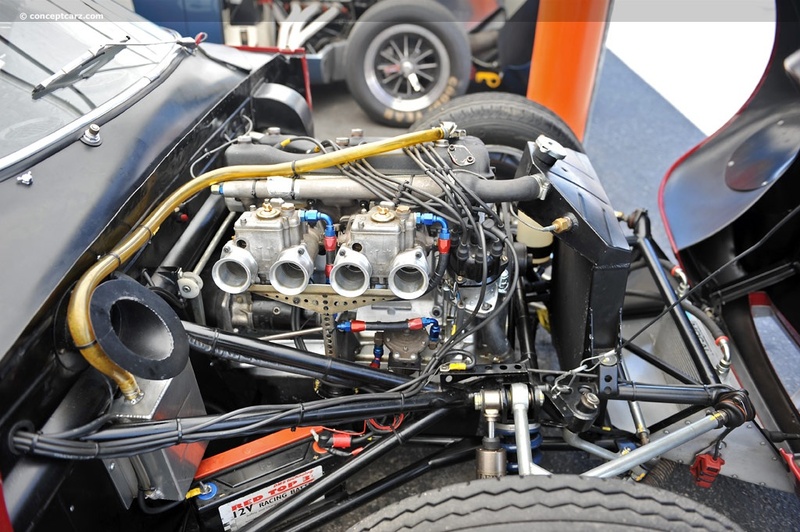 Next came the legendary GTP machine that won an astonishing 17 races in a row between 1992 and 1993. 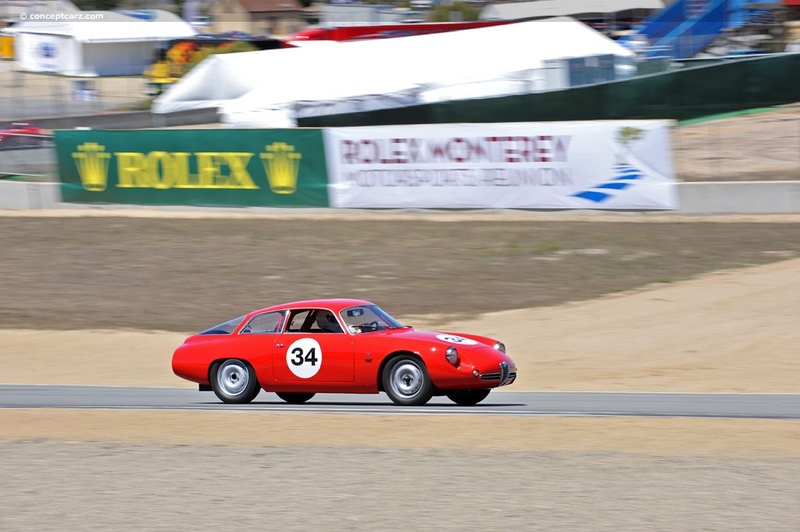 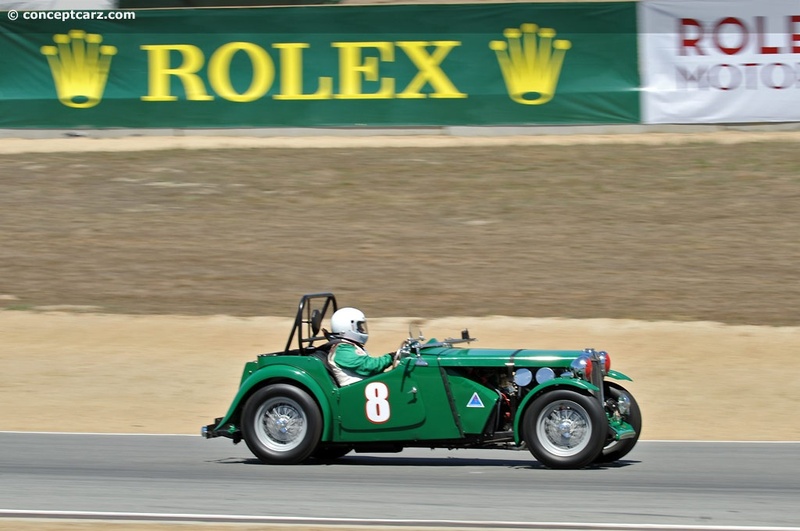 The Rolex Monterey Motorsports Reunions is a weeklong celebration of vintage, historic, rare, accomplished, and expensive. 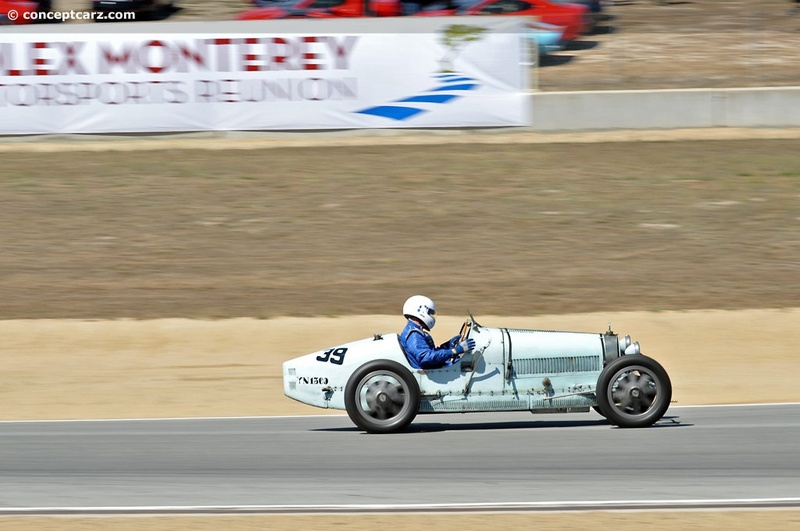 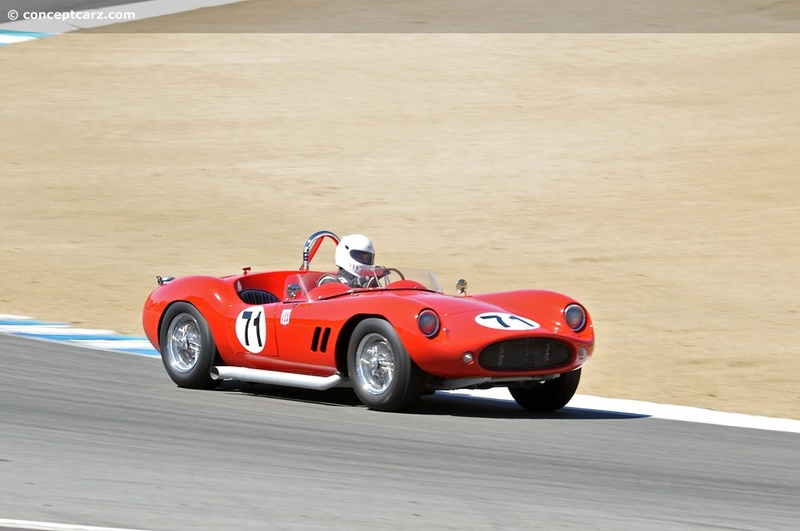 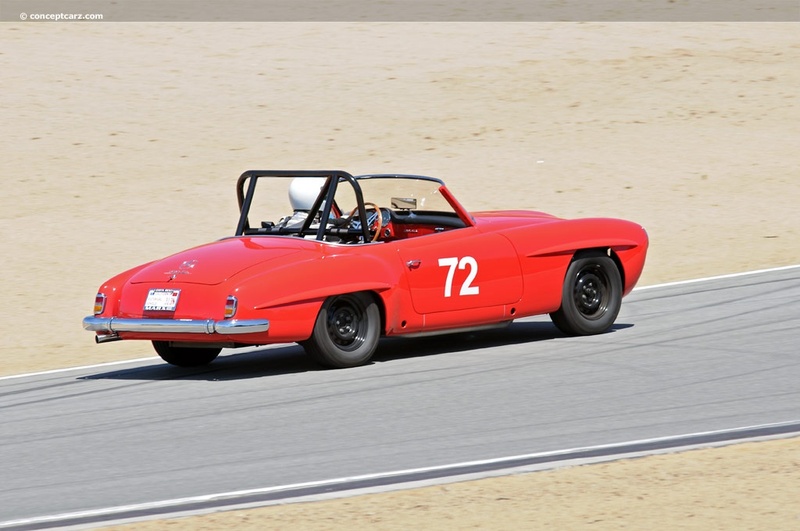 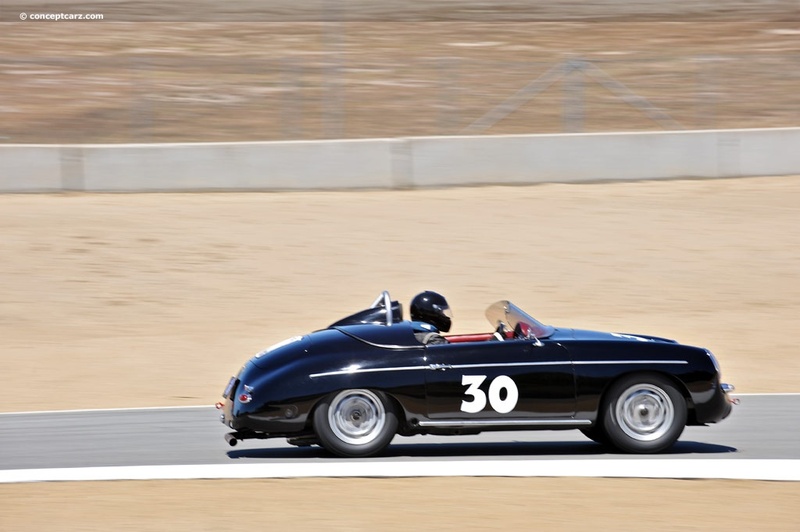 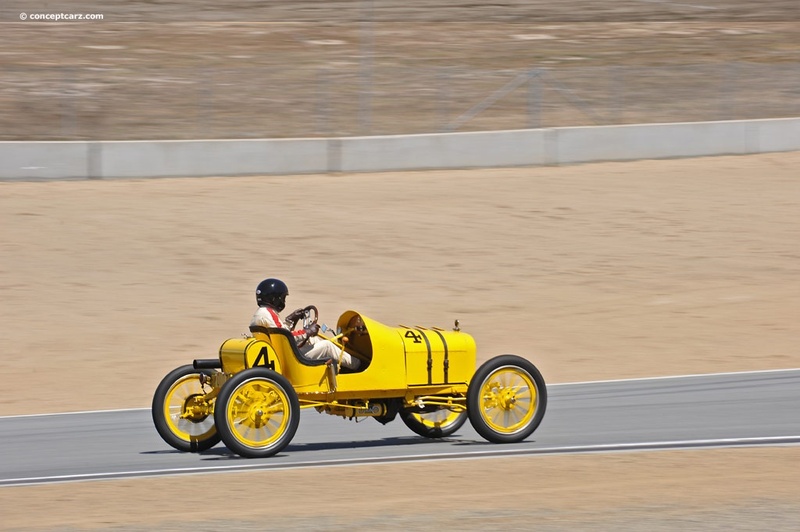 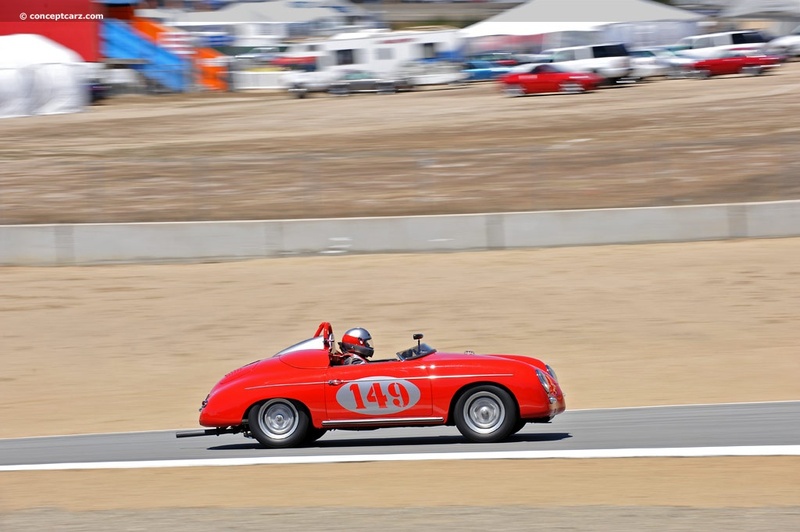 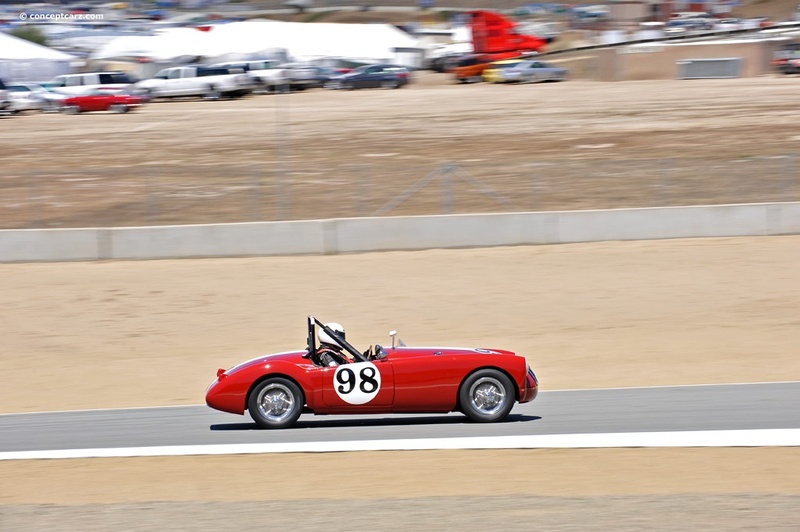 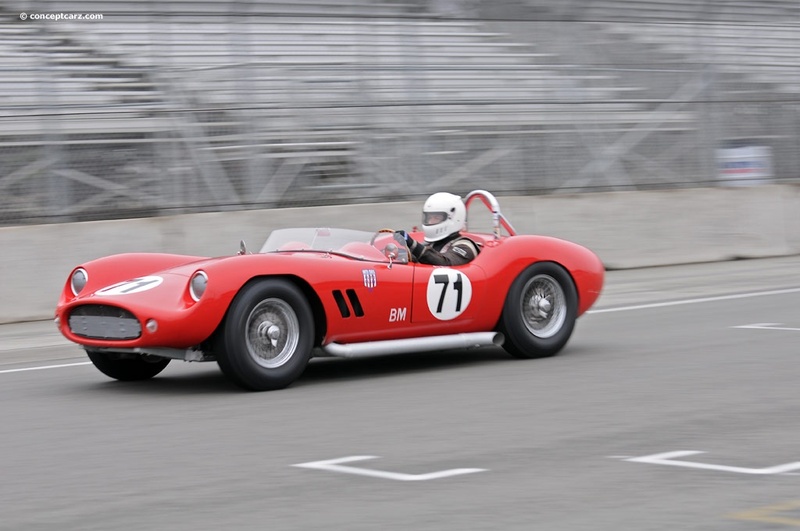 It is a special event that coincides with many other activities in the Monterey Peninsula including wine tours, concours, auctions, parties, and street cruises. 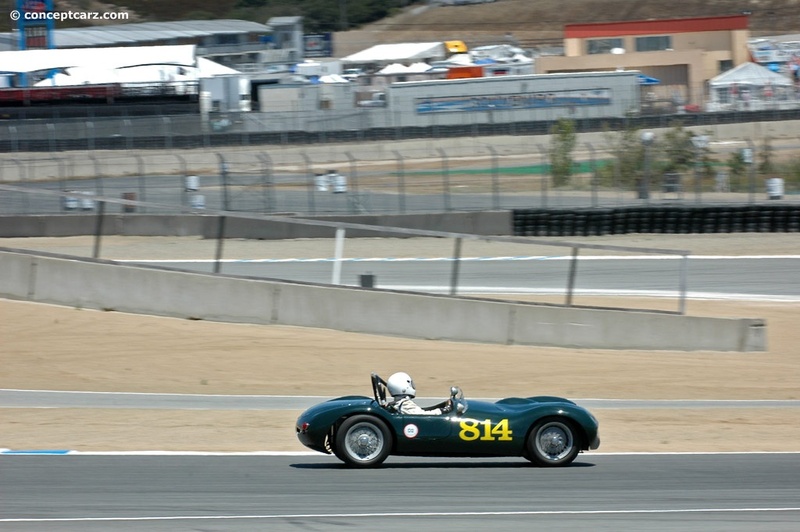 Gill Campbell and team had an enormous task of preserving the reputation and expectations of this Historic Motorsport Reunion, along with adding their own personality, changes, and improvements. 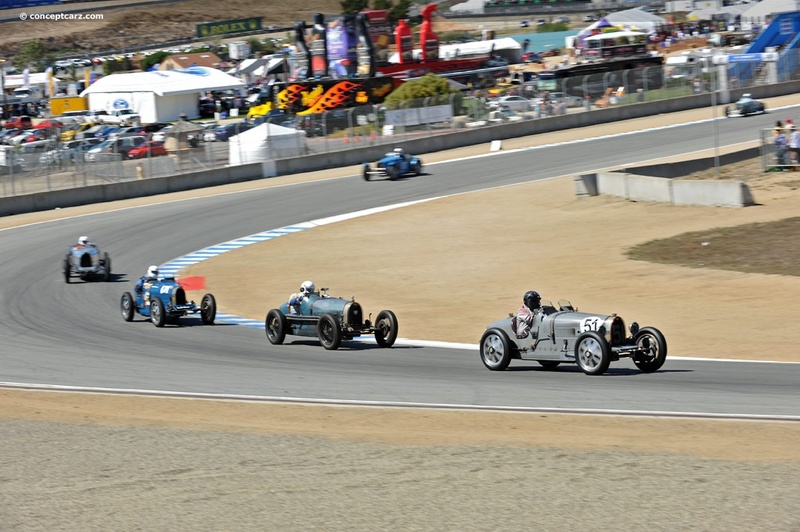 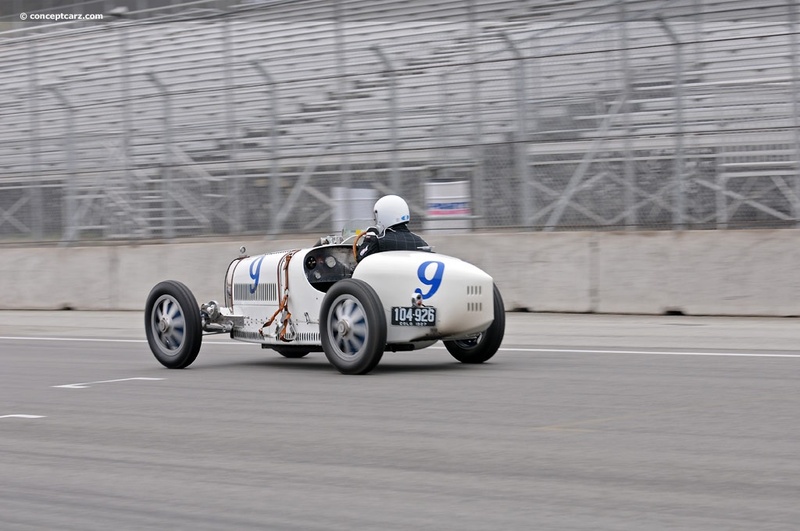 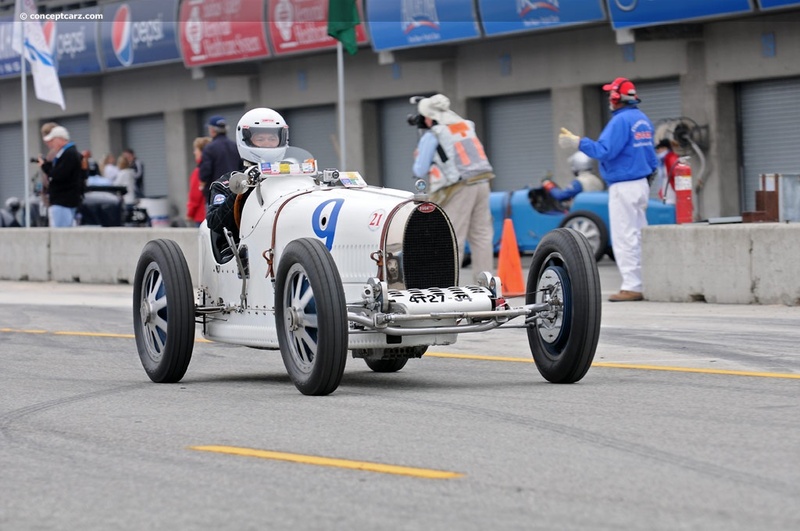 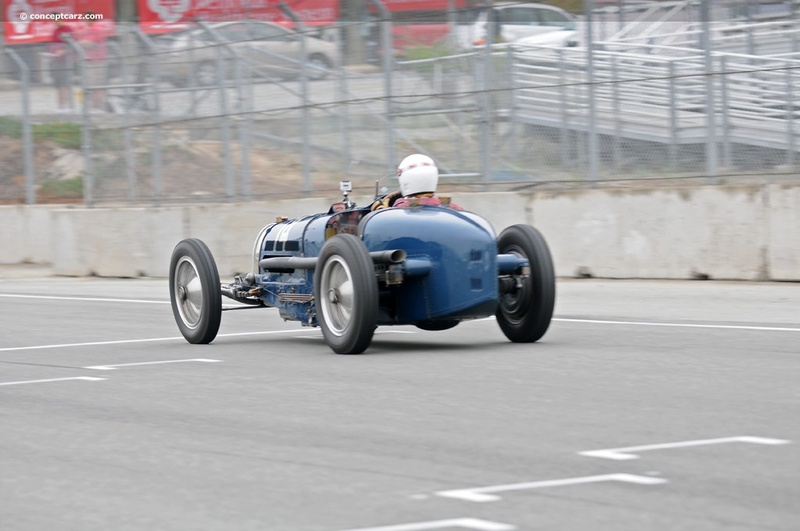 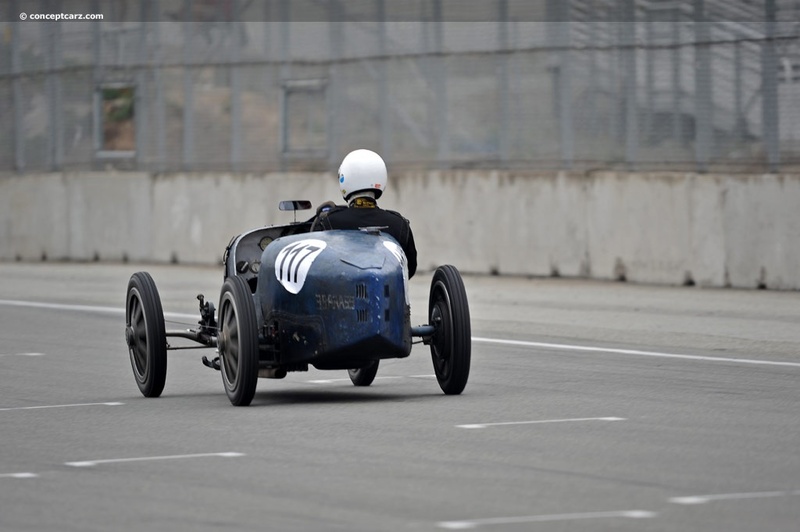 The modifications made to the four-day event (plus the Pre-Reunions event the week prior and the familiarization day), were helpful and beneficial, giving spectators more access to the feature cars. 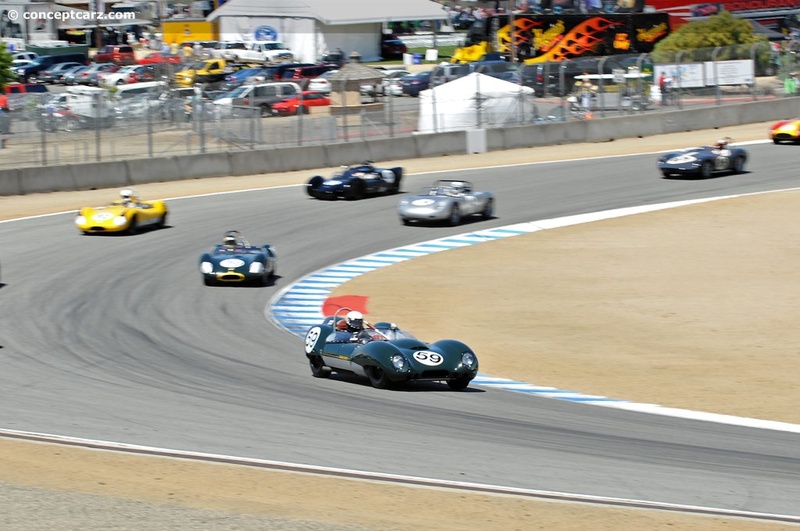 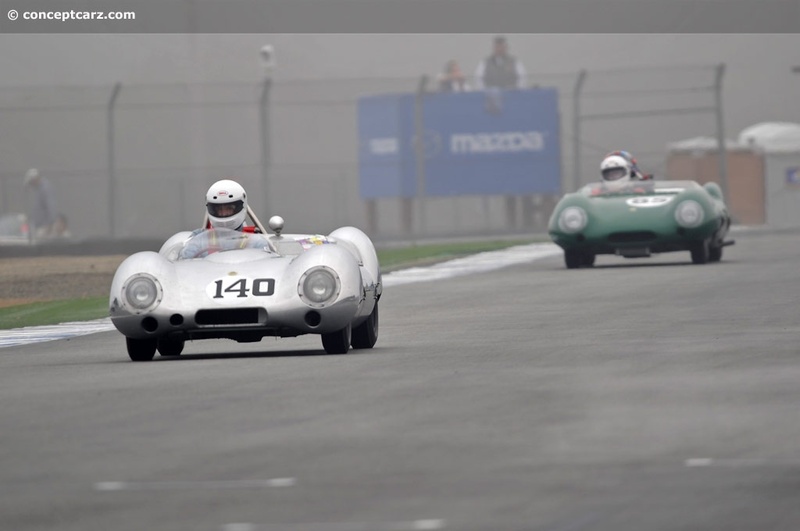 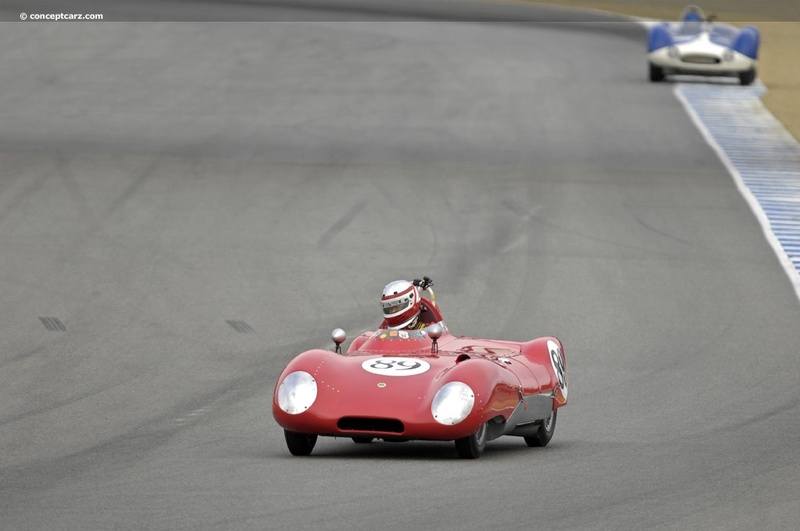 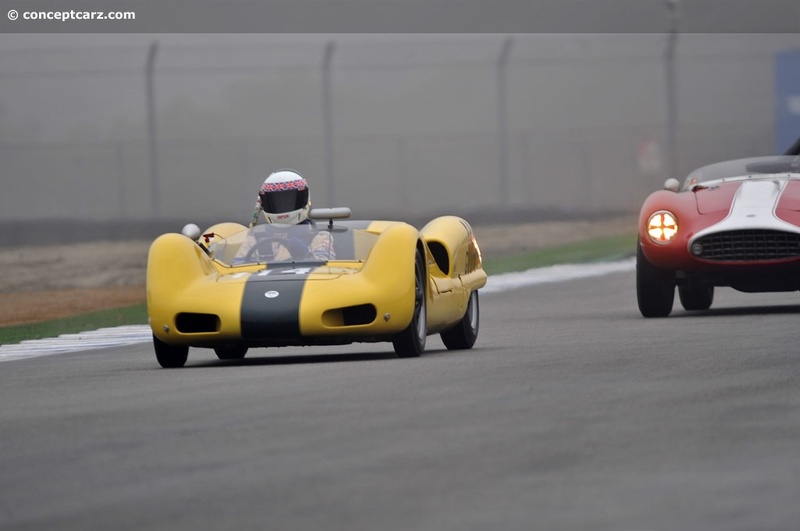 Plenty of racing, spectacular cars, a scenic track, and Dan Gurney in attendance made the 2010 edition a very memorable experience. 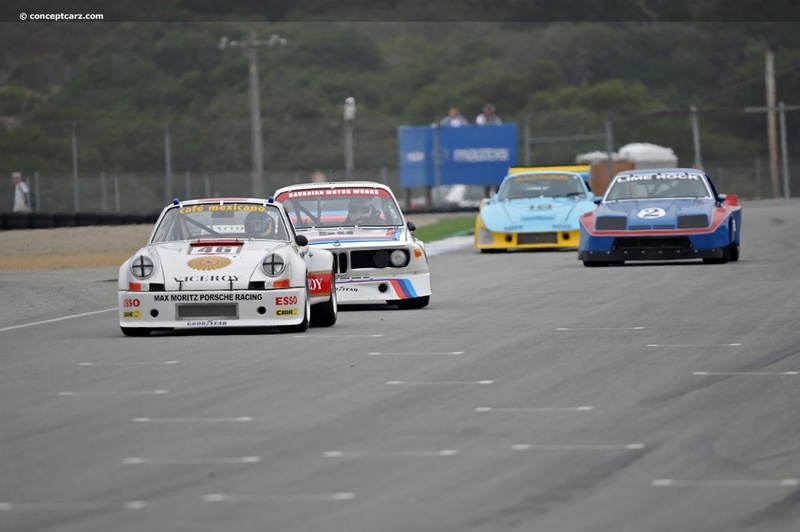 It once again proved to be one of the best opportunities to relive and re-imagine some of the greatest racing from years gone by.